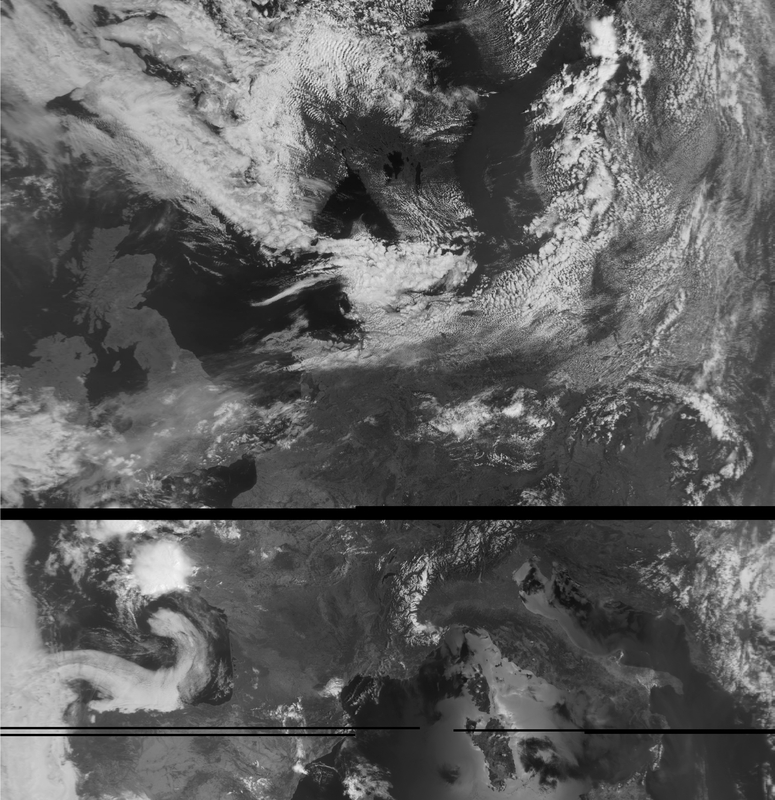 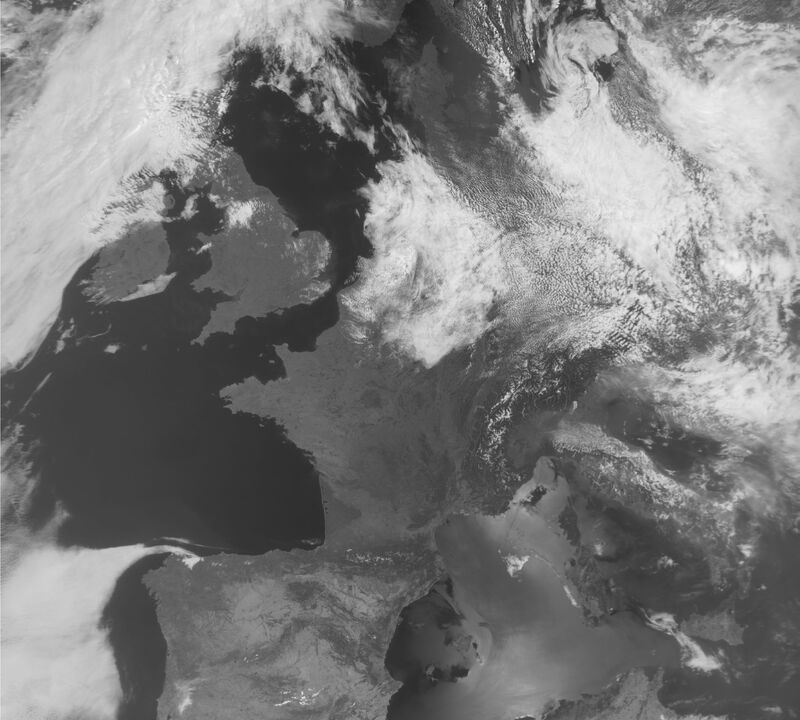 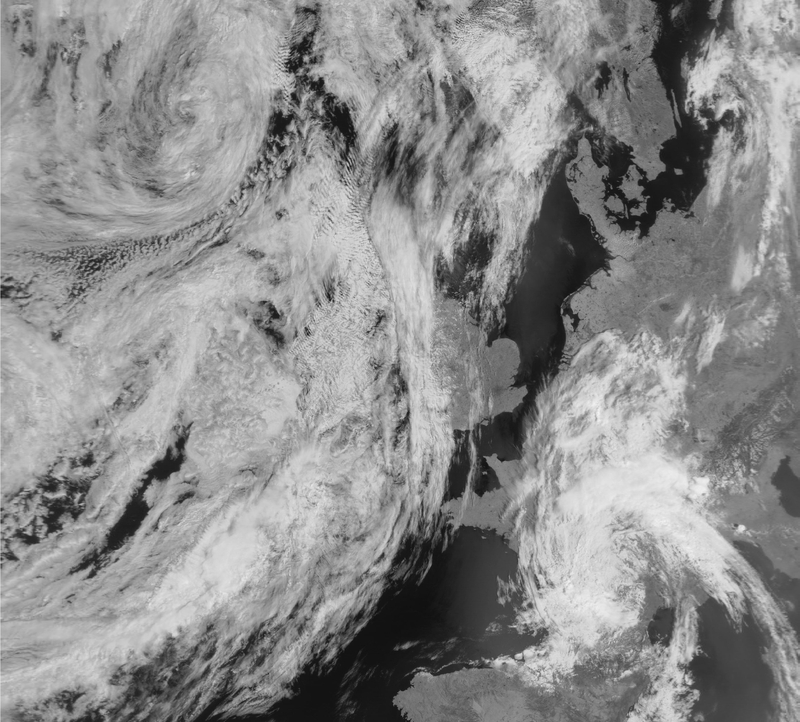 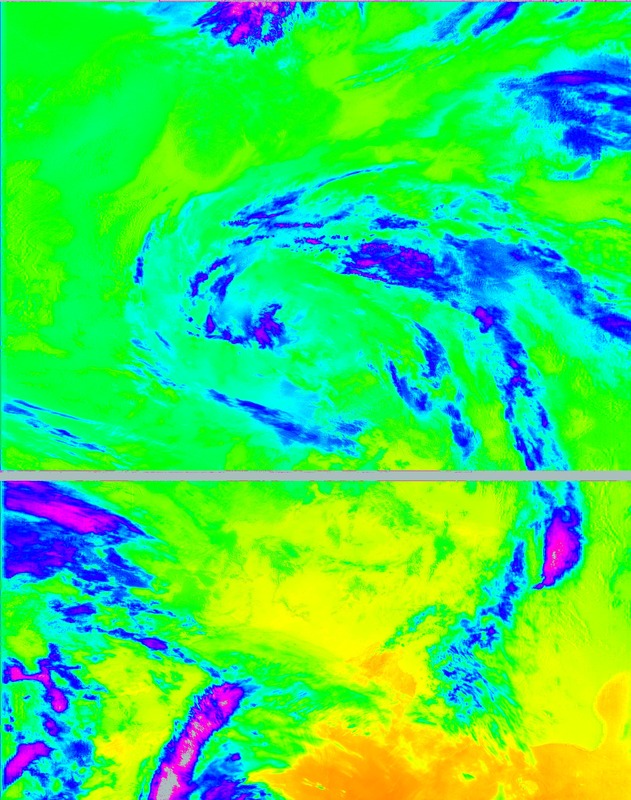 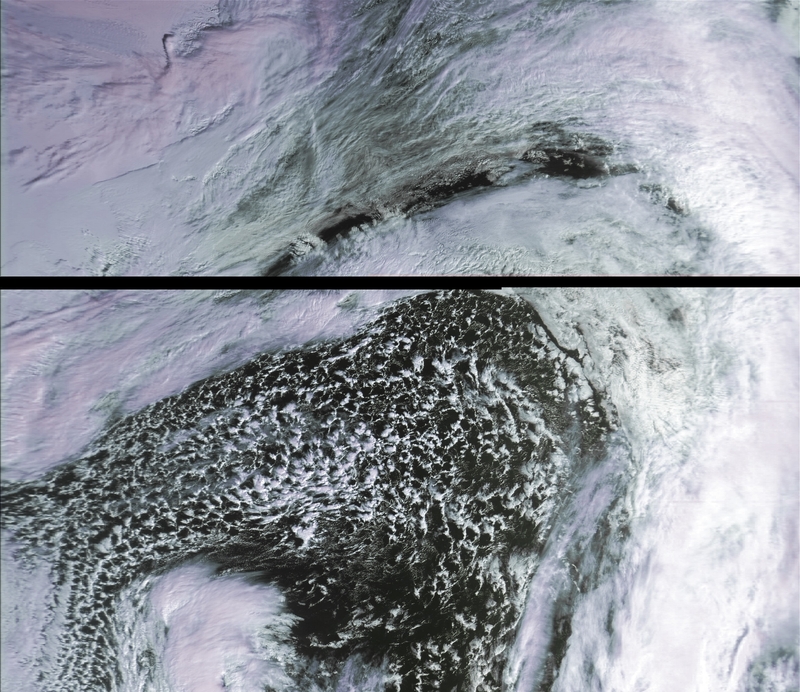 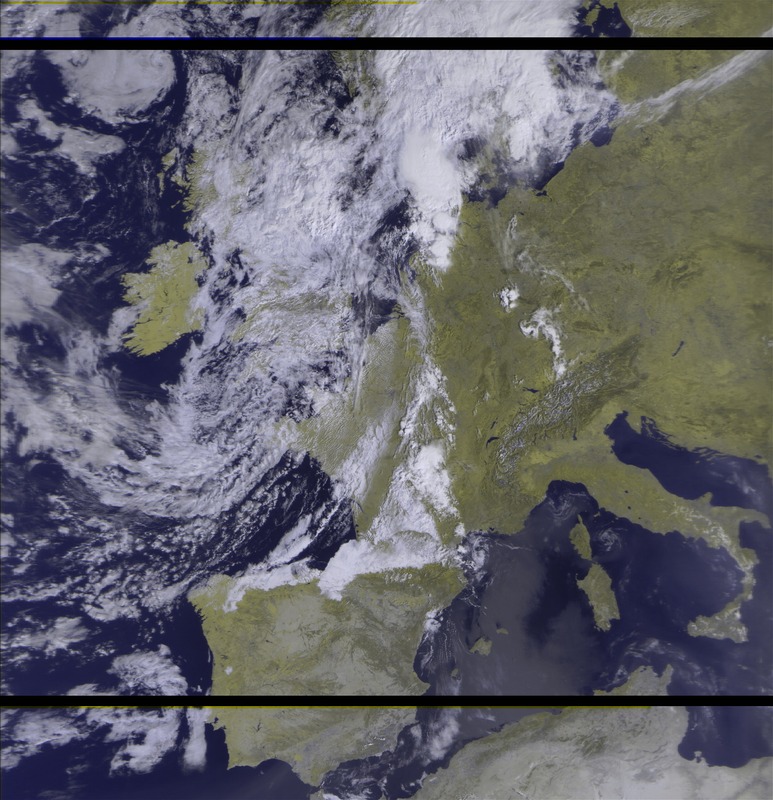 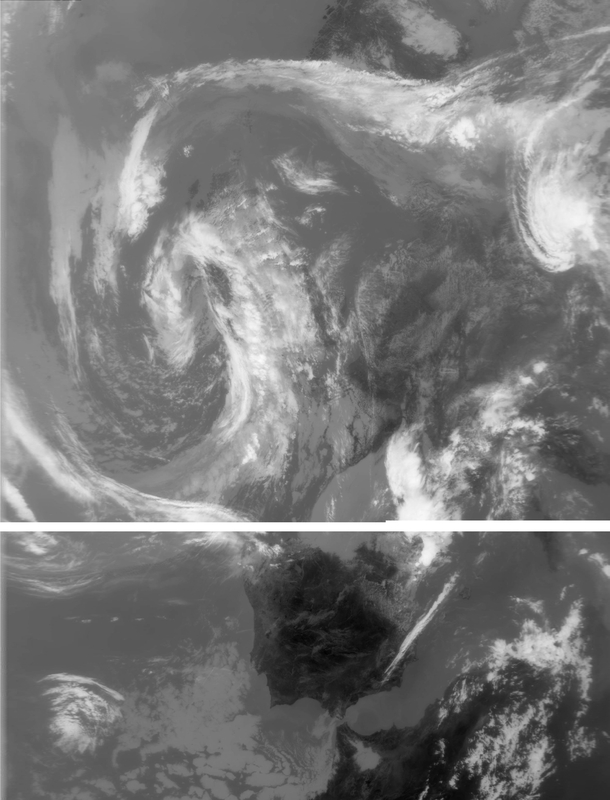 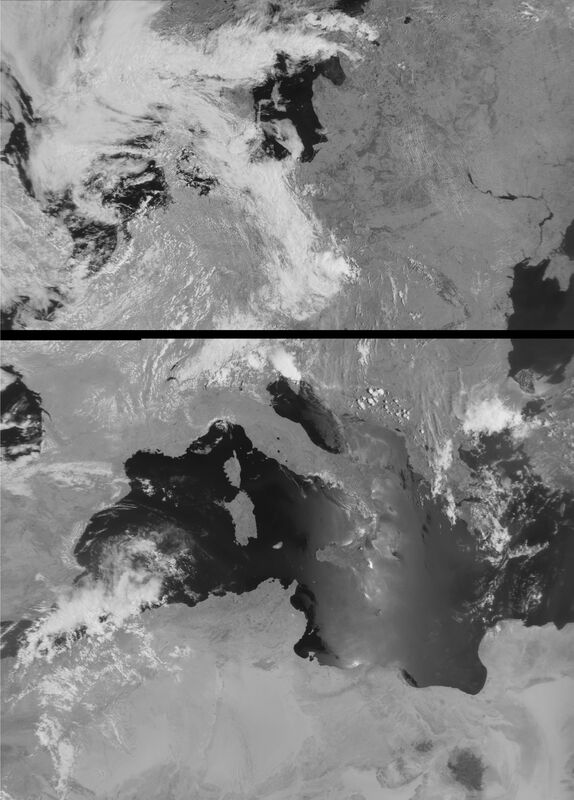 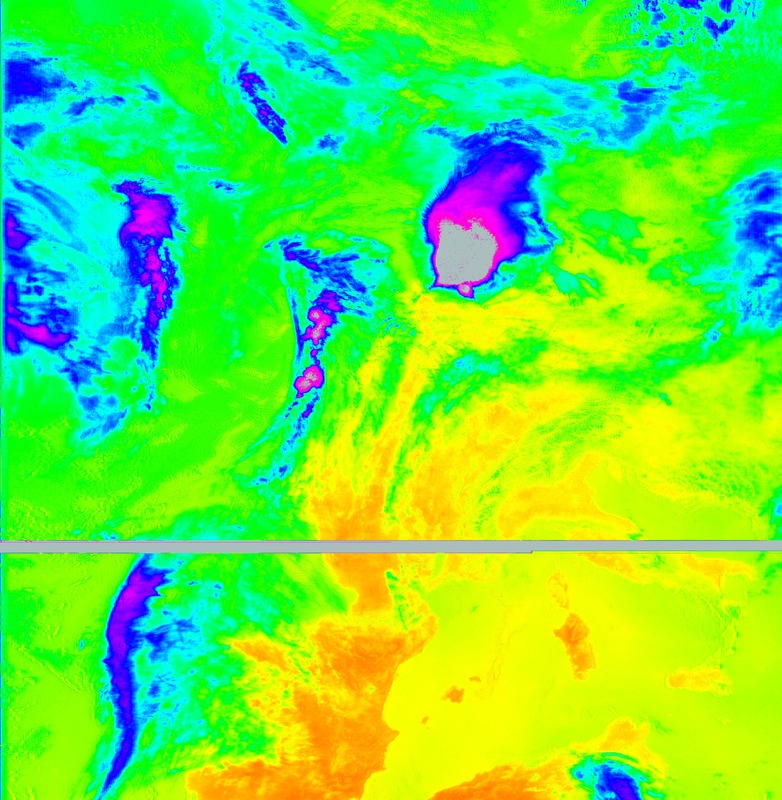 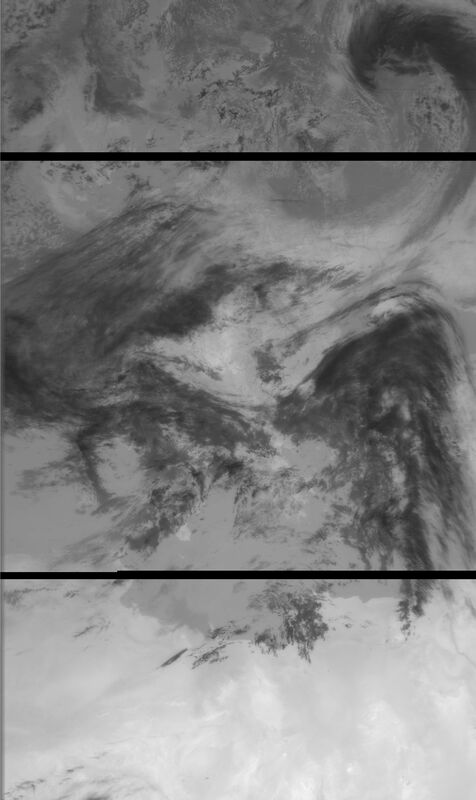 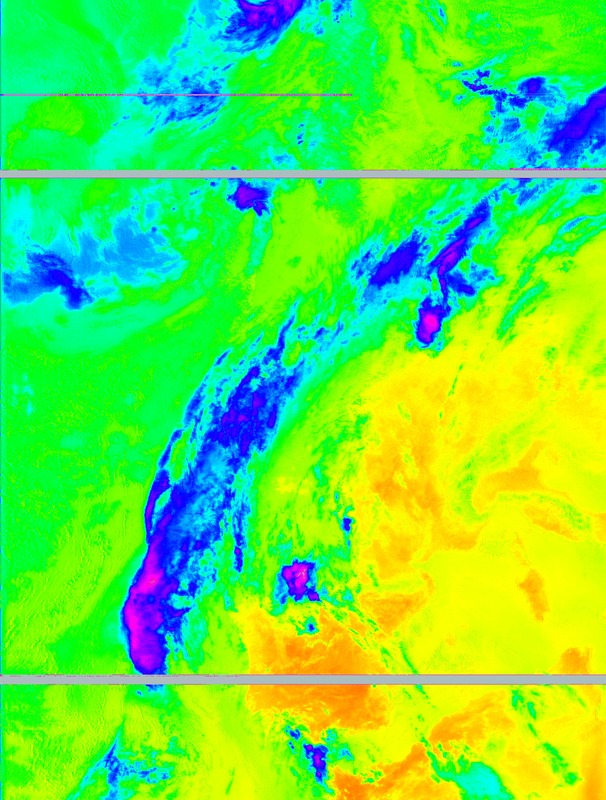 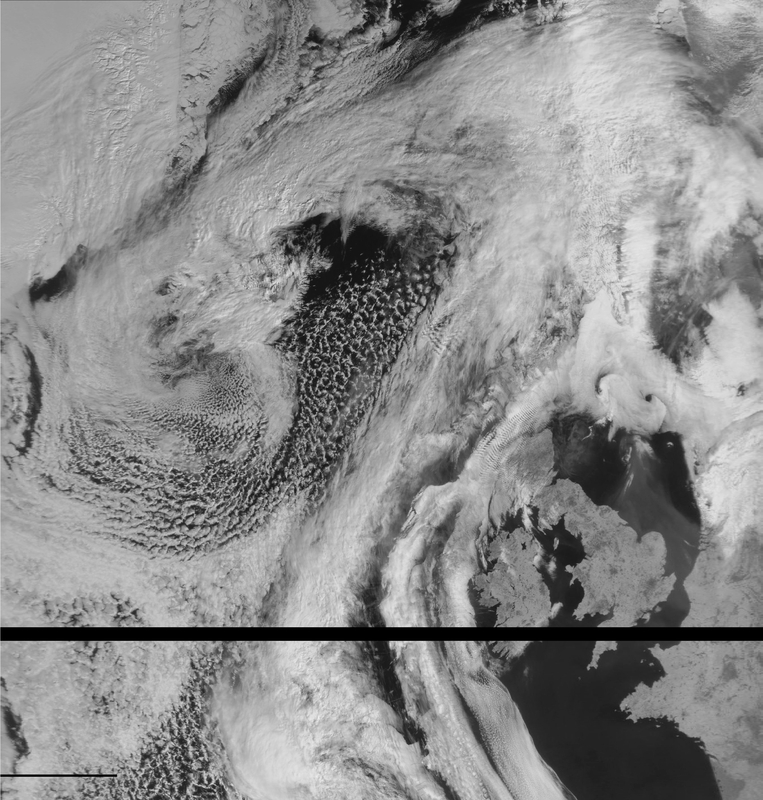 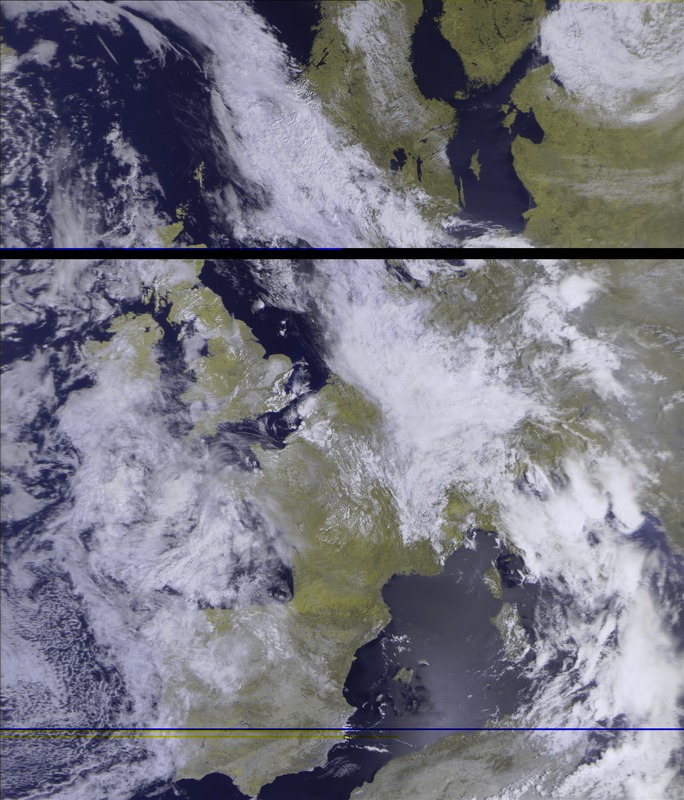 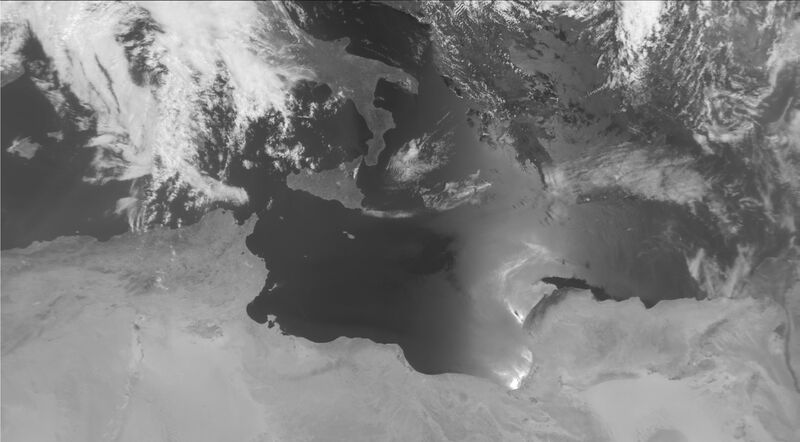 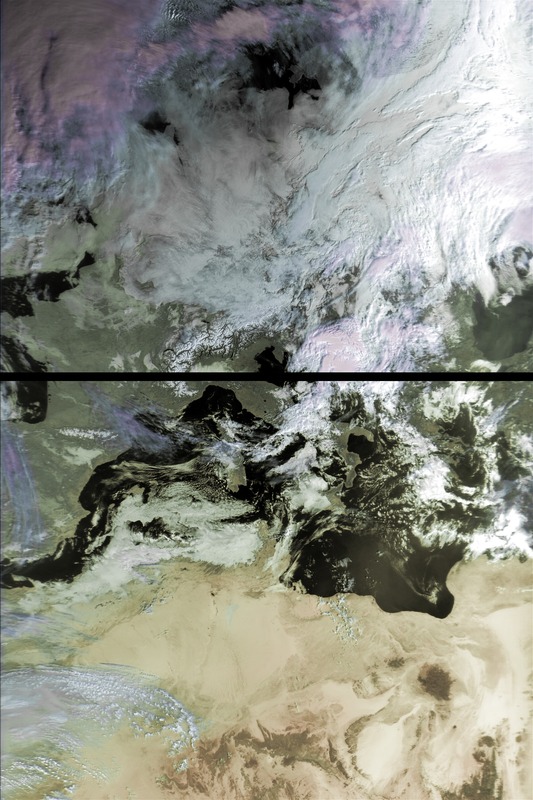 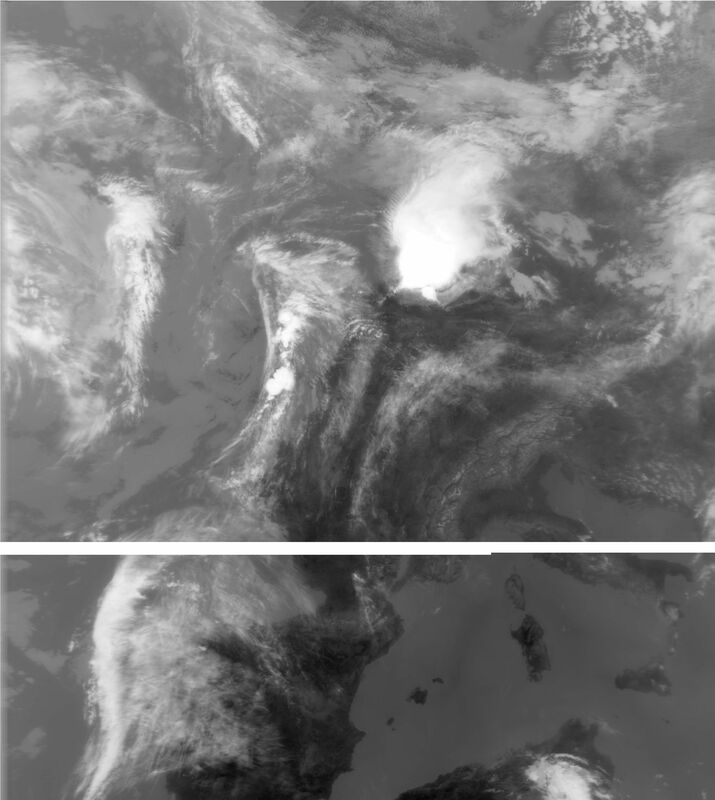 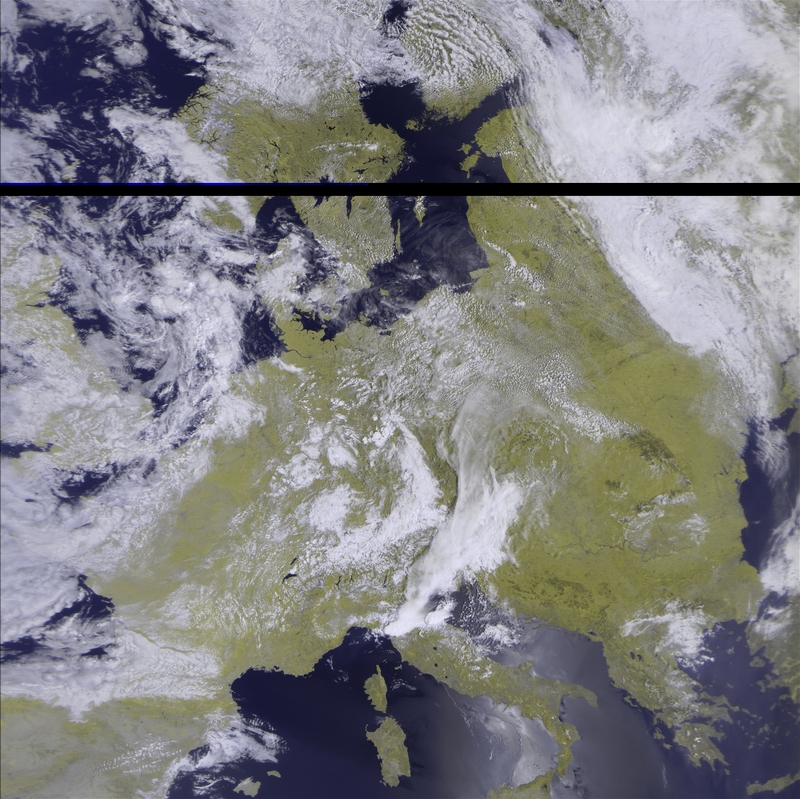 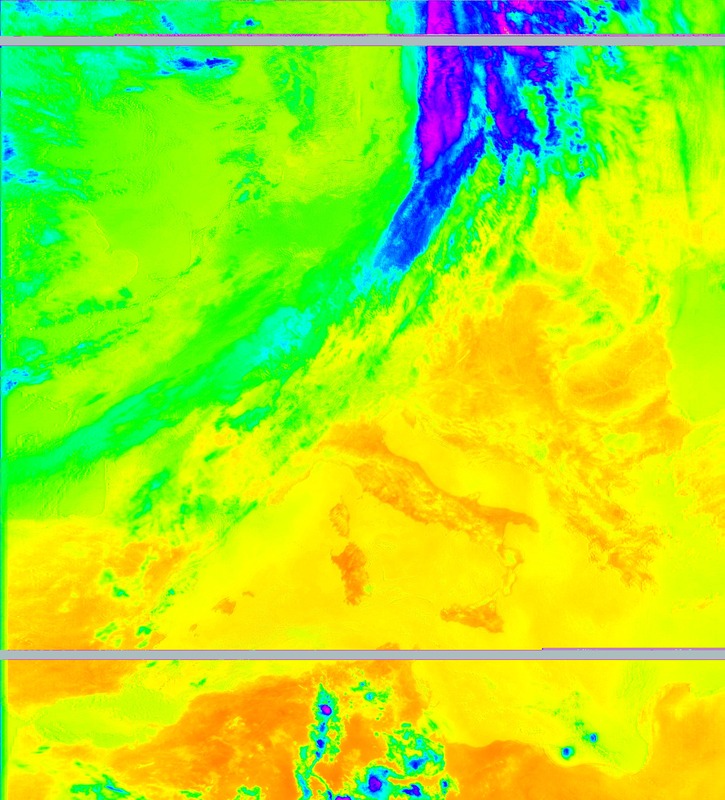 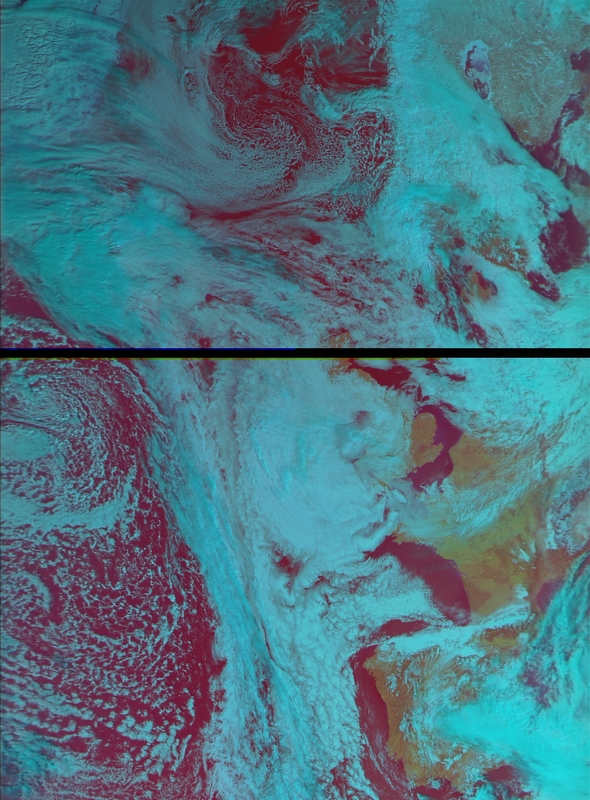 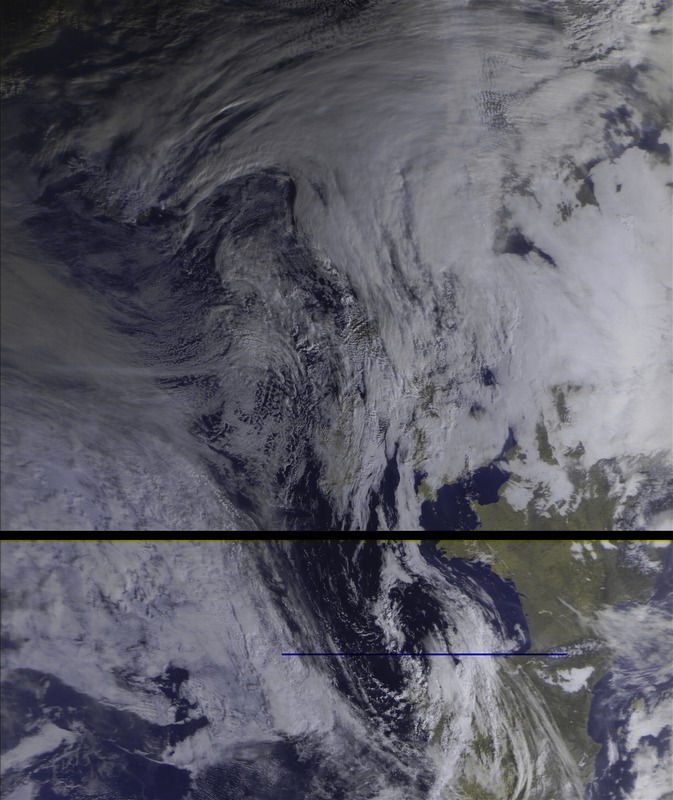 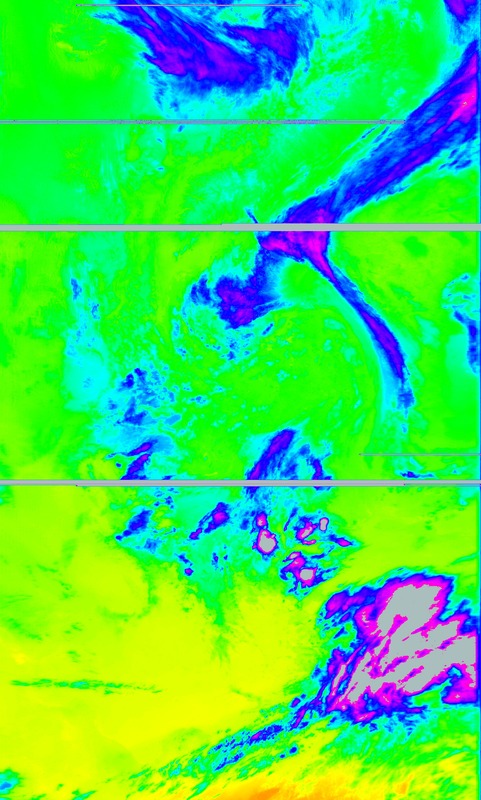 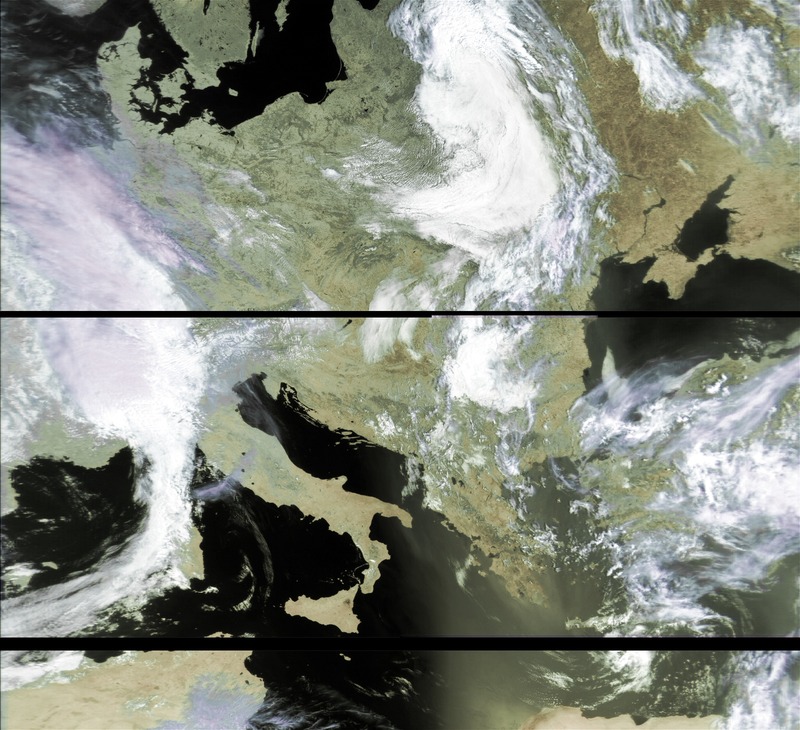 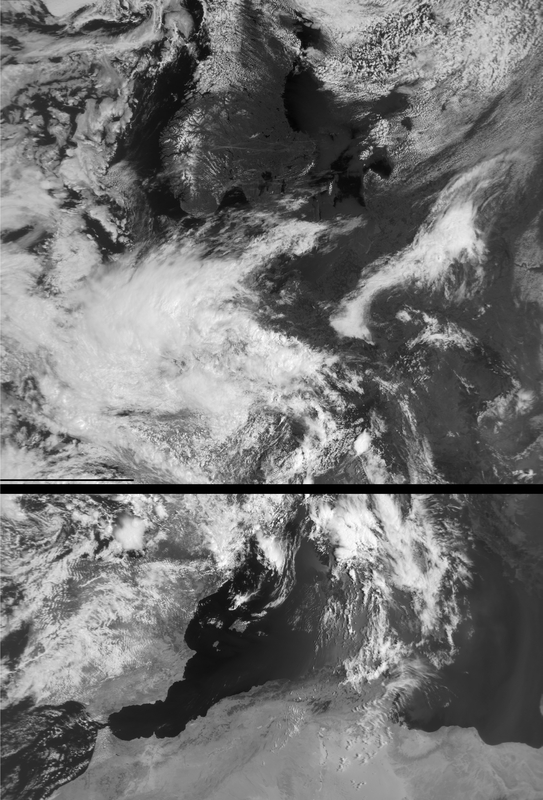 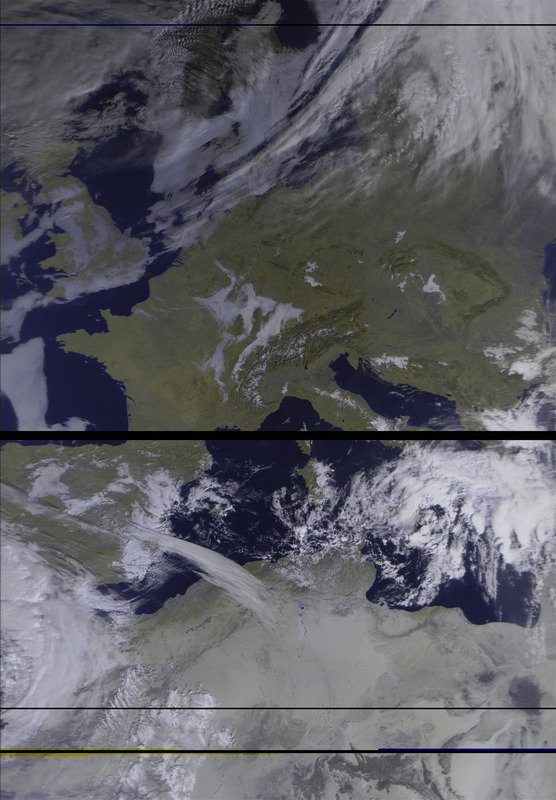 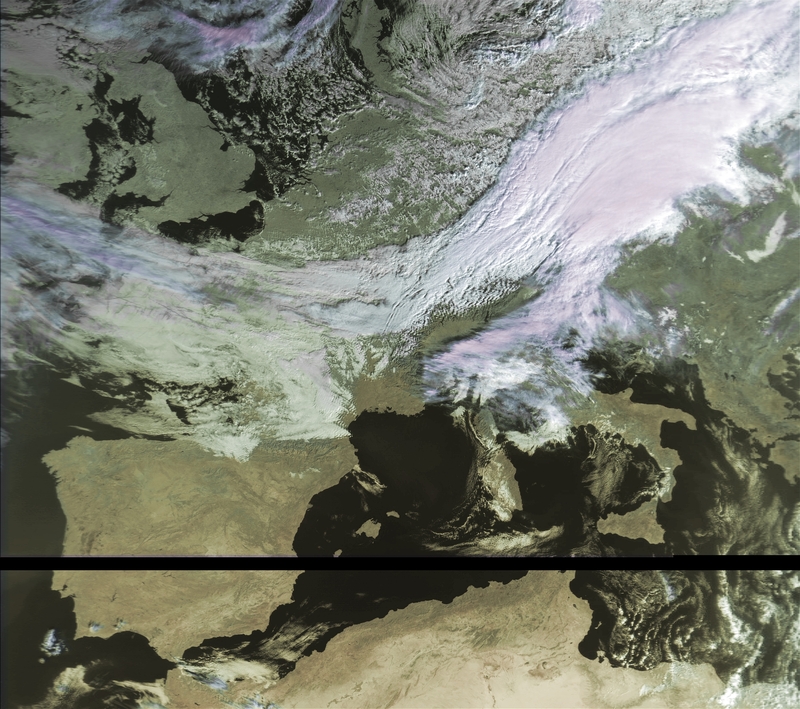 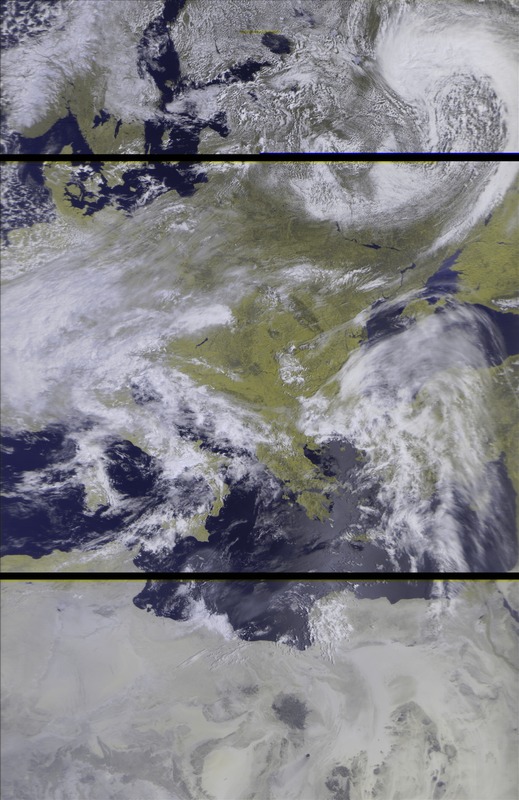 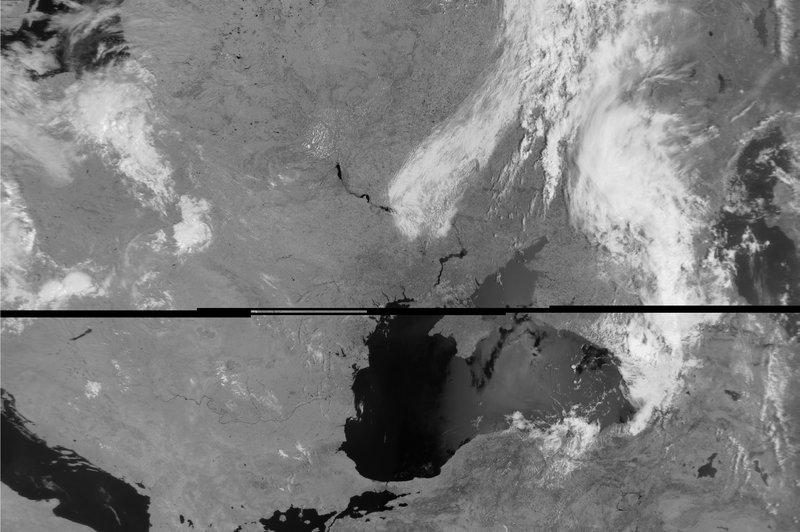 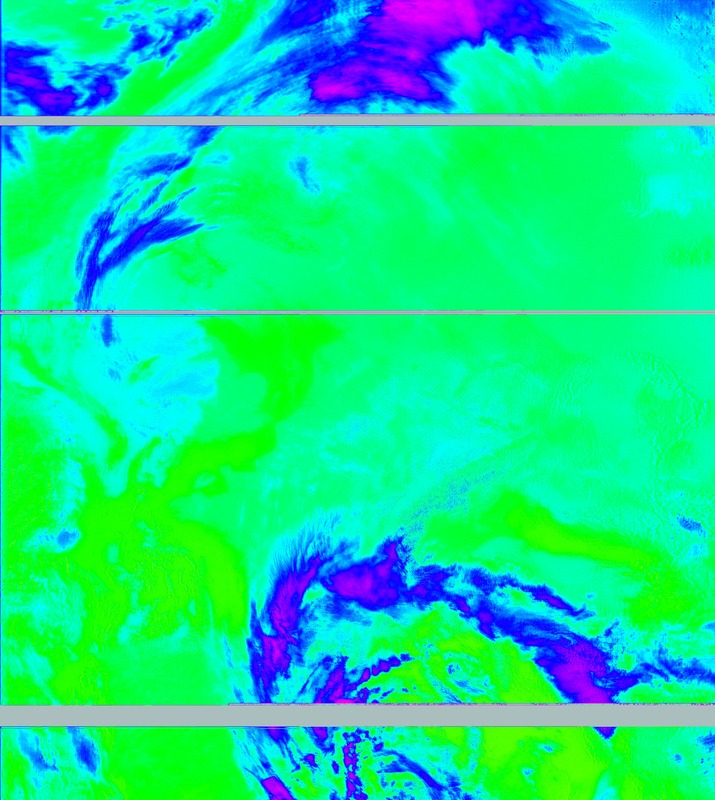 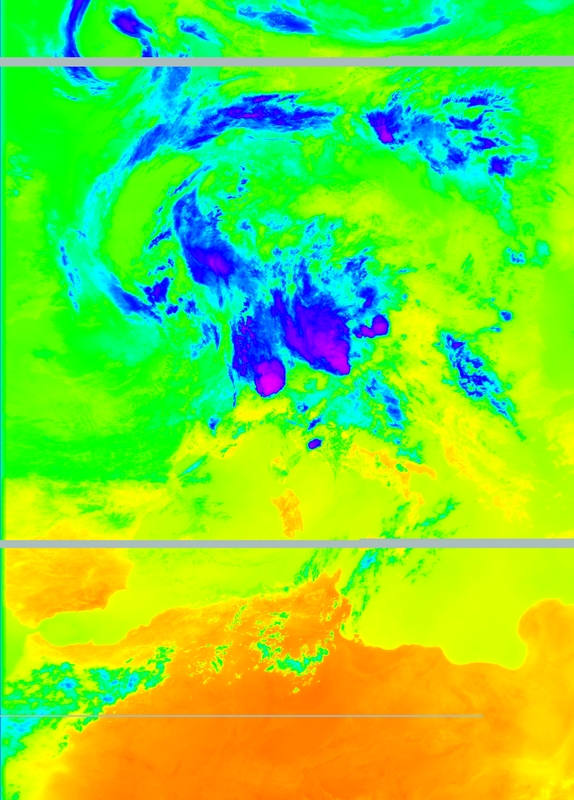 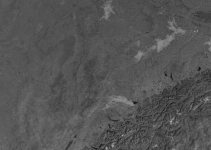 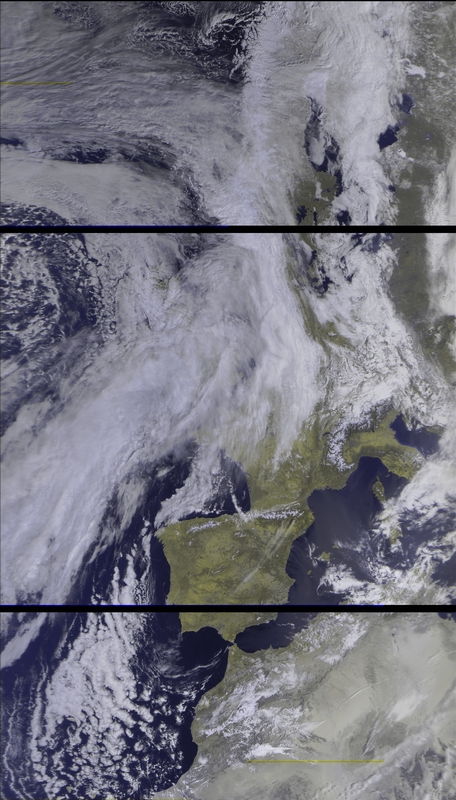 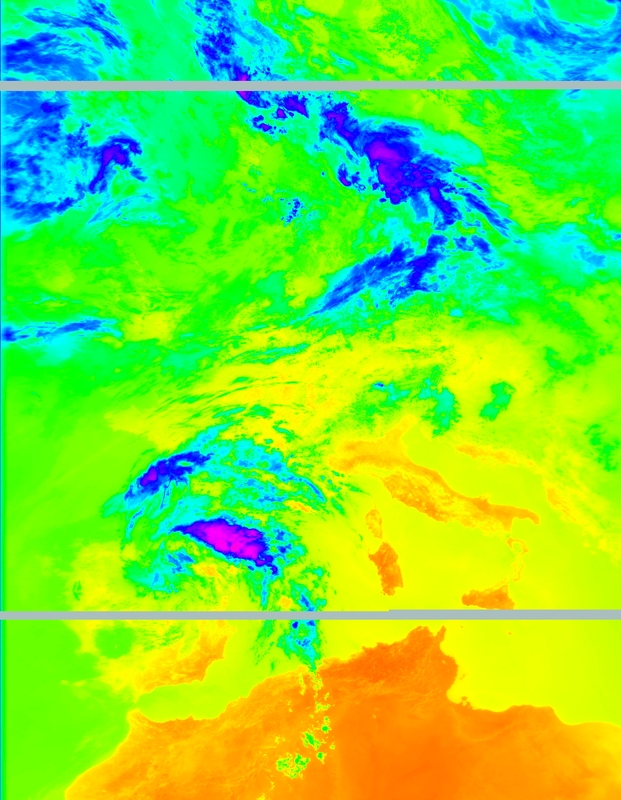 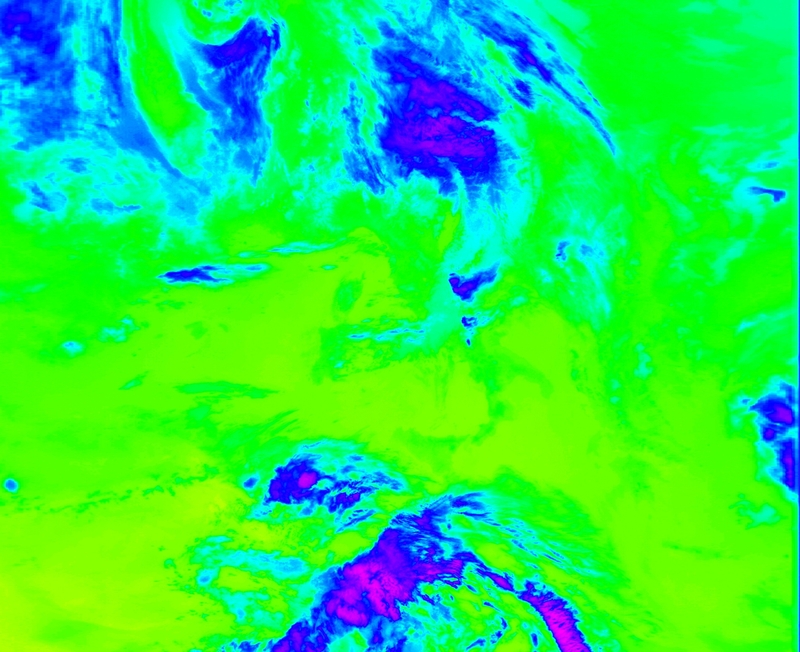 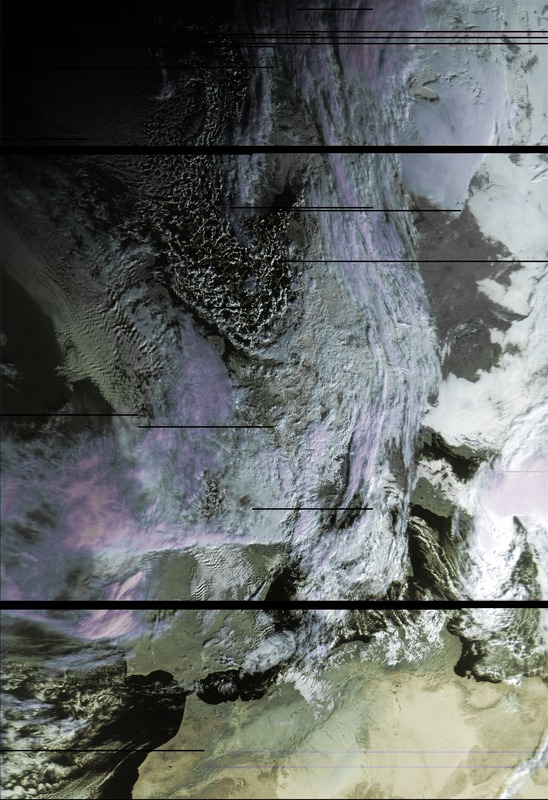 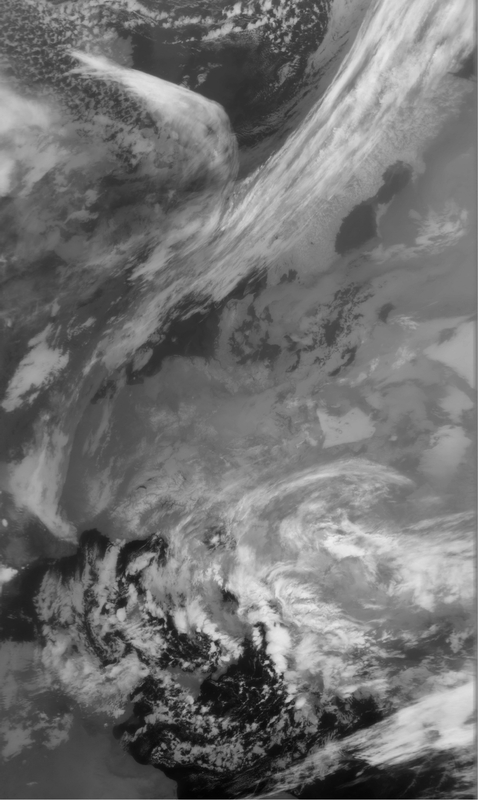 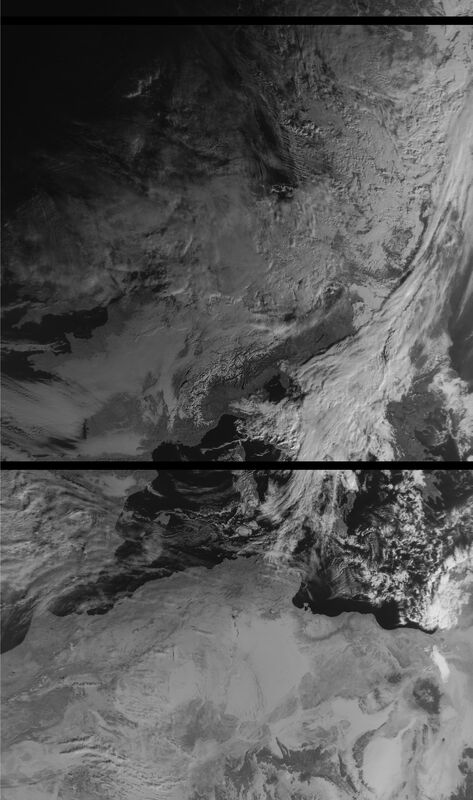 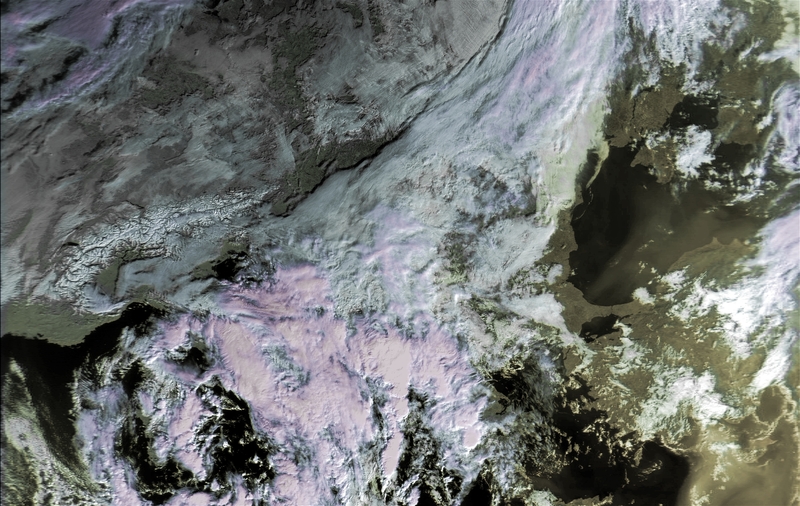 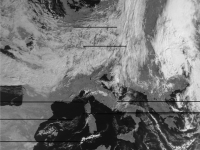 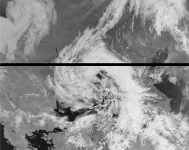 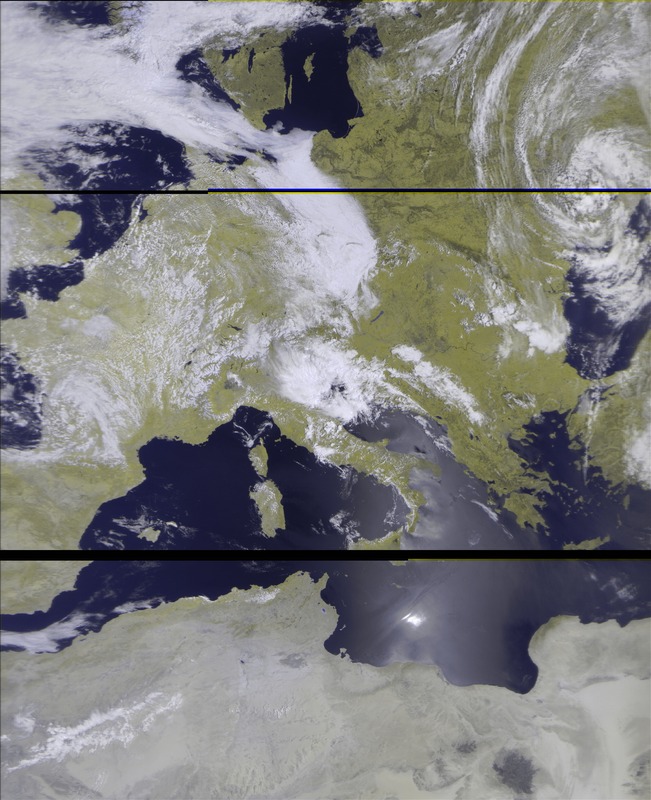 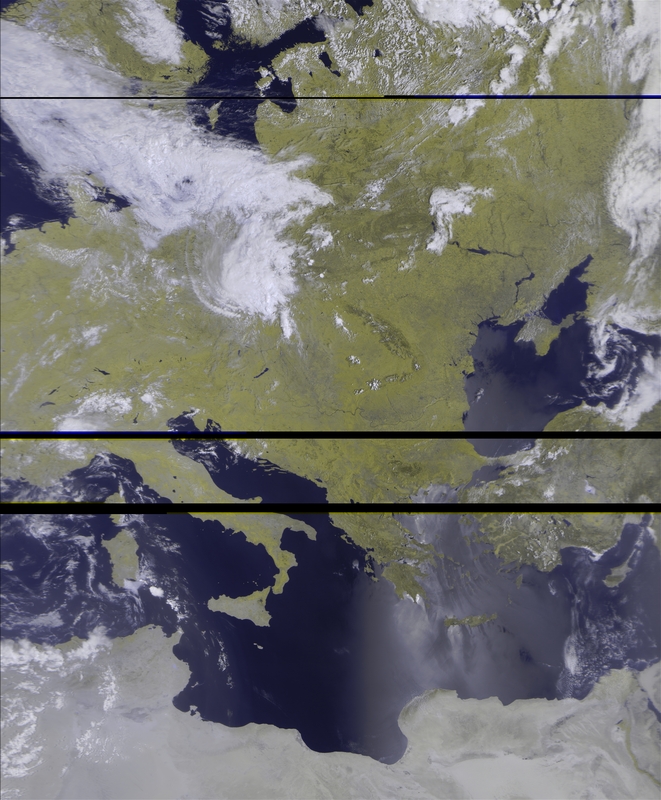 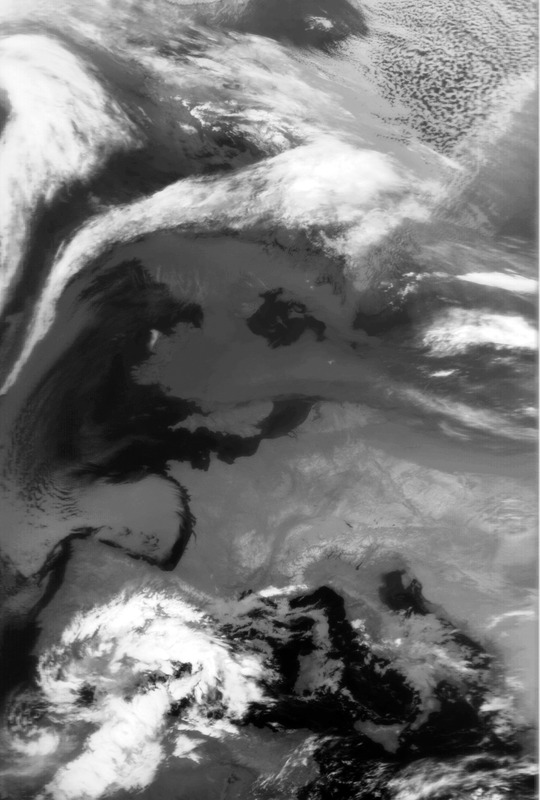 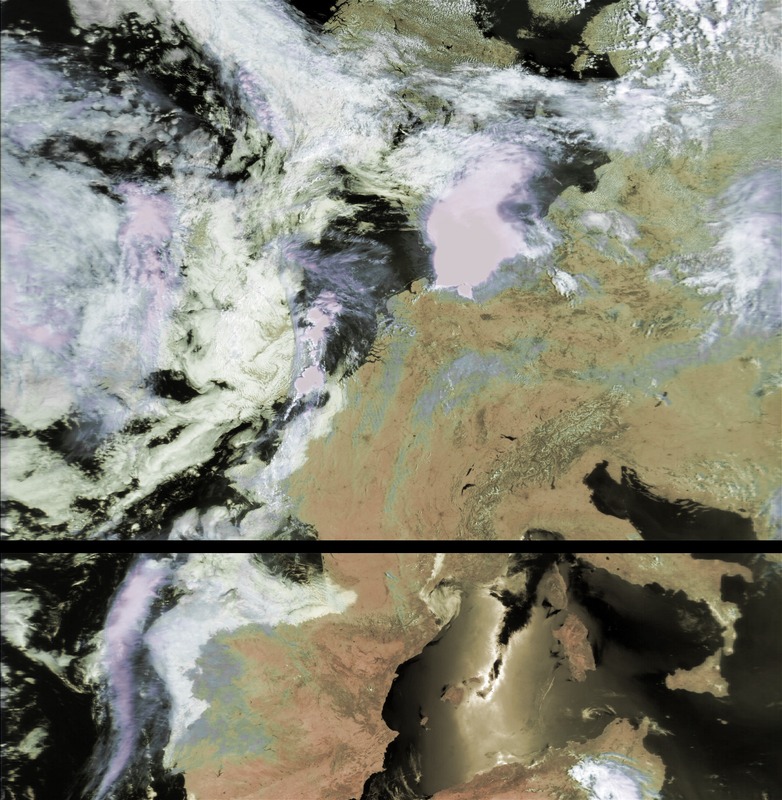 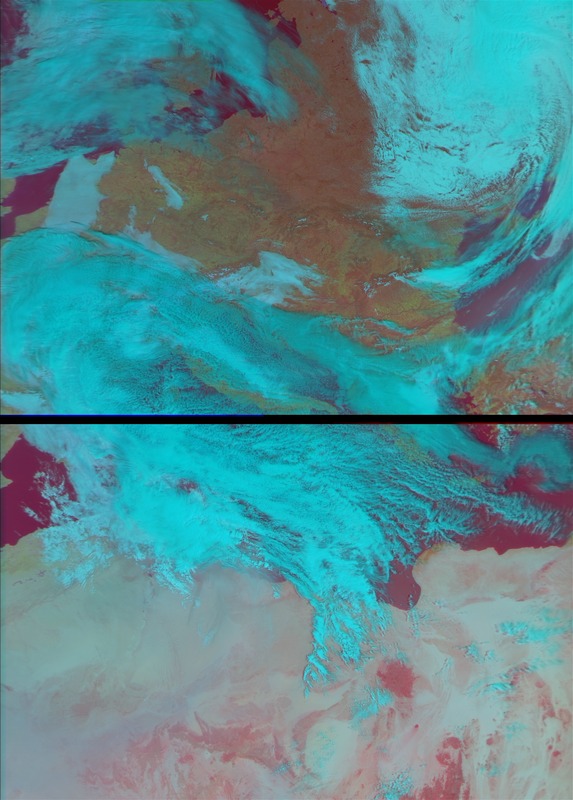 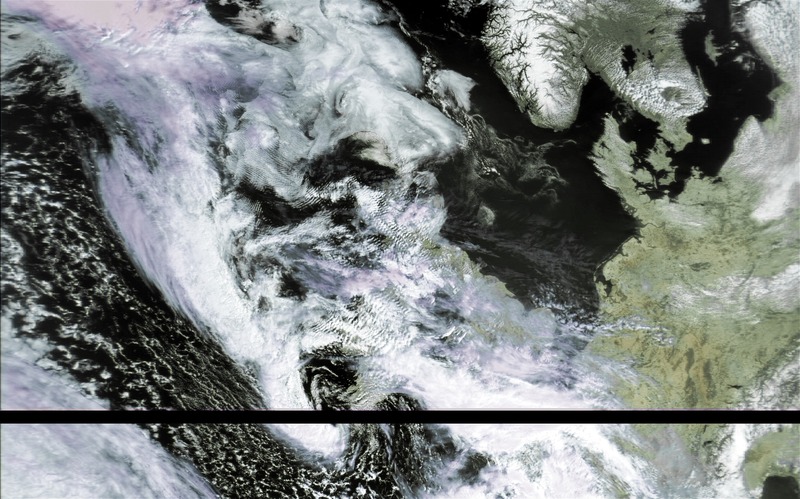 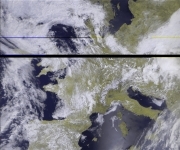 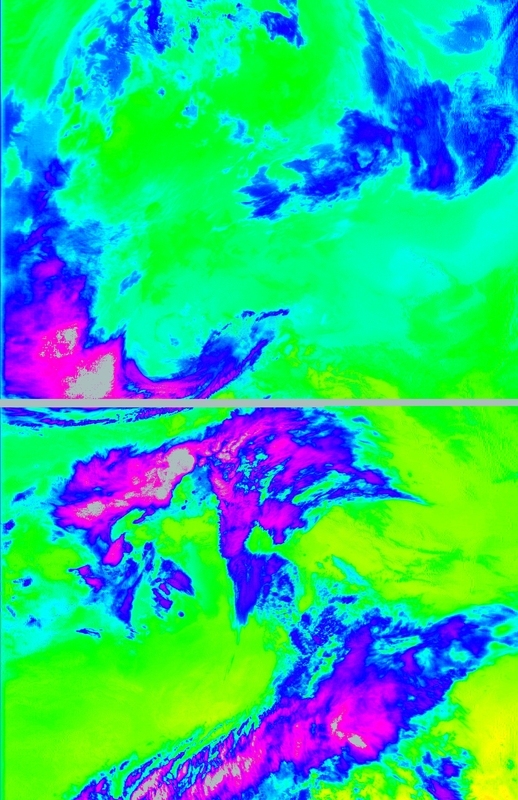 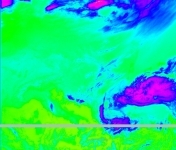 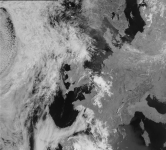 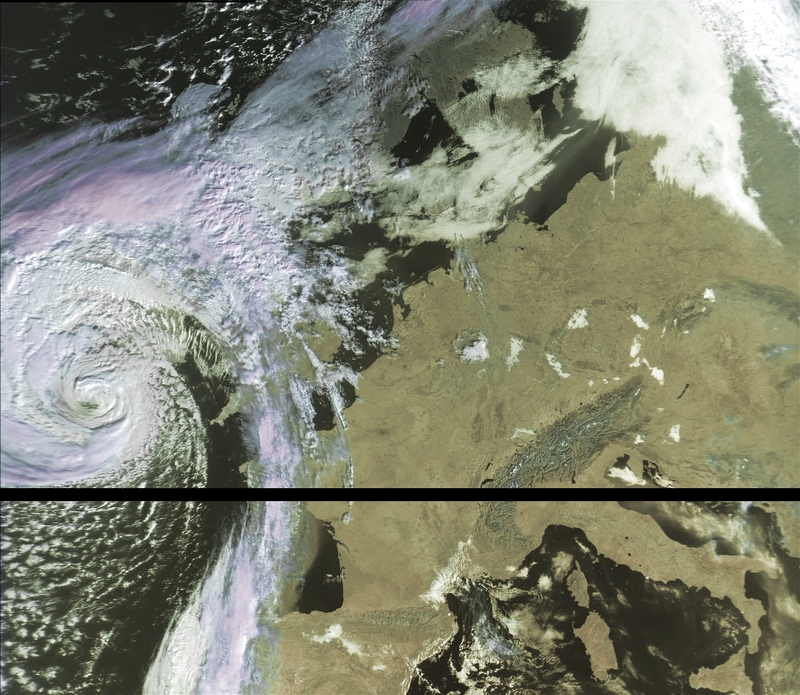 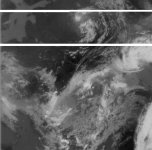 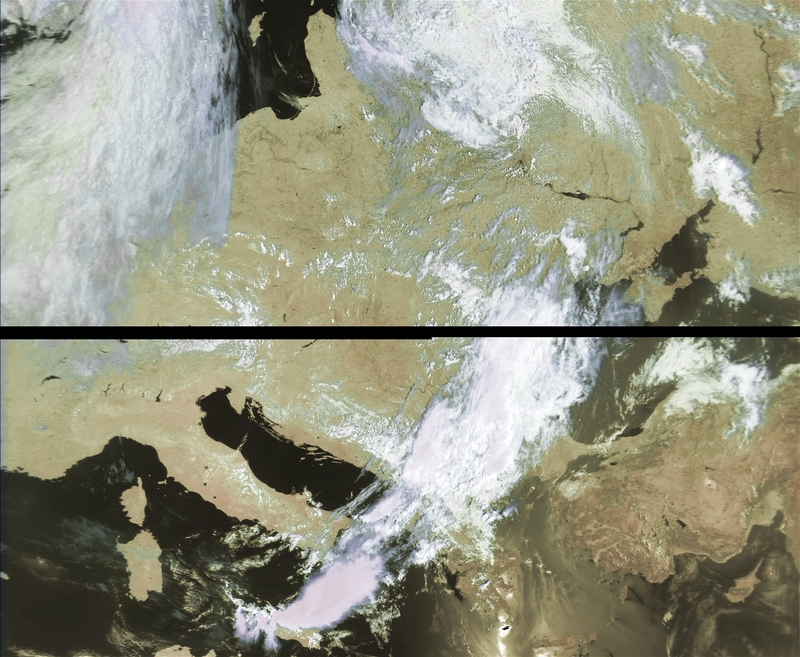 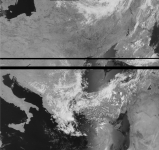 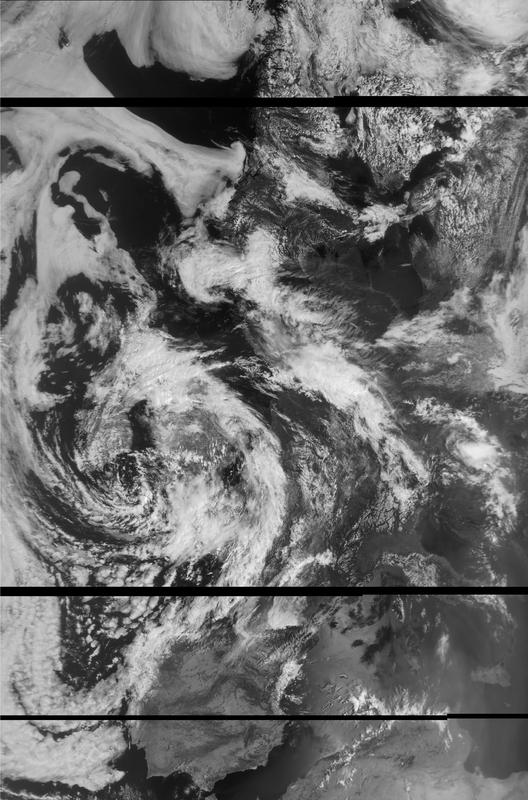 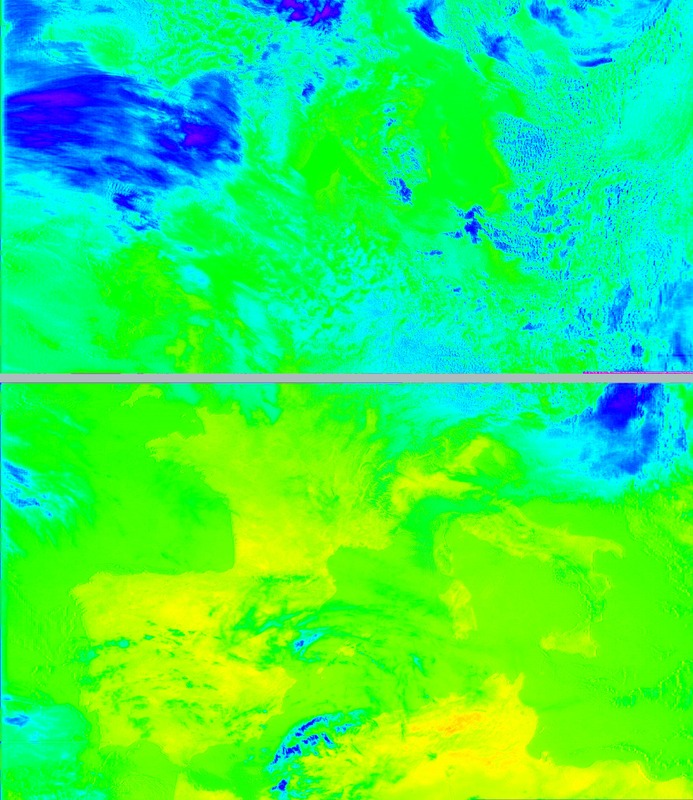 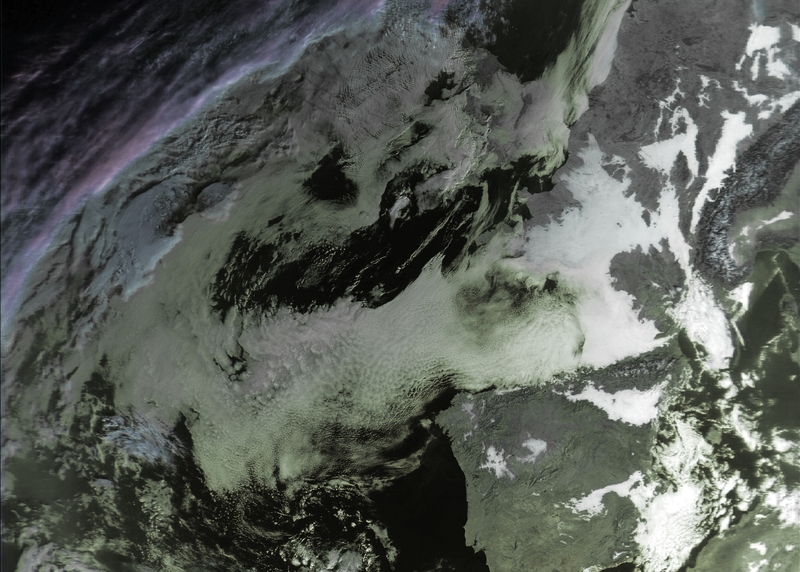 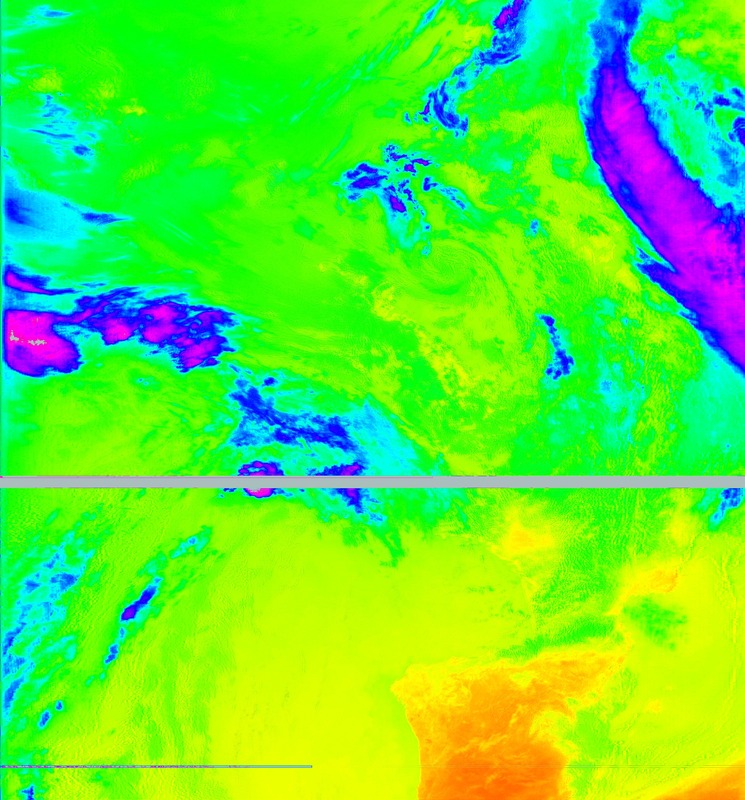 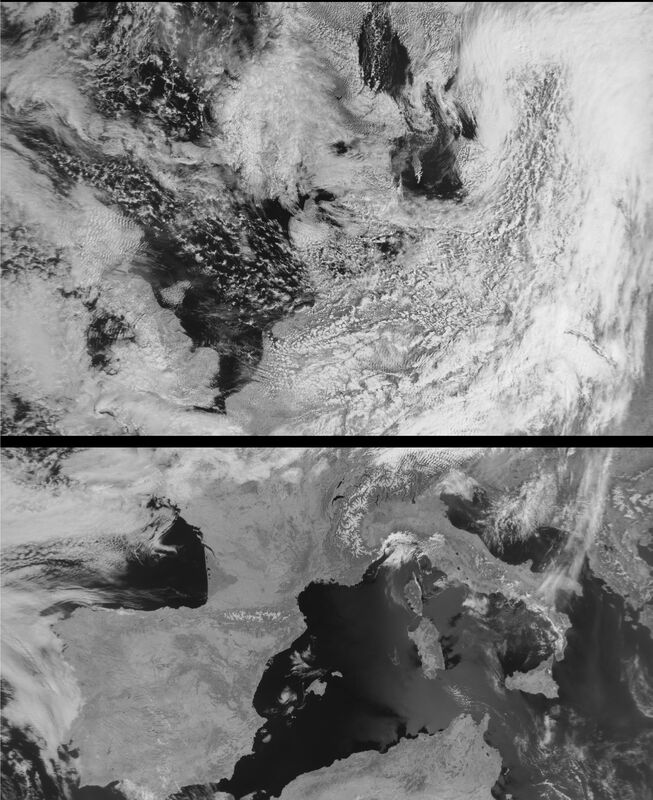 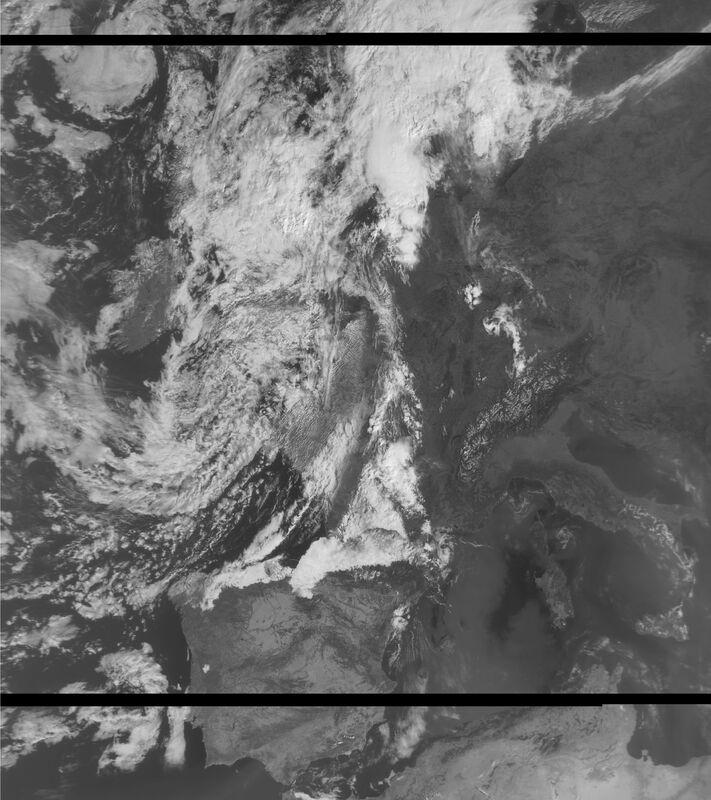 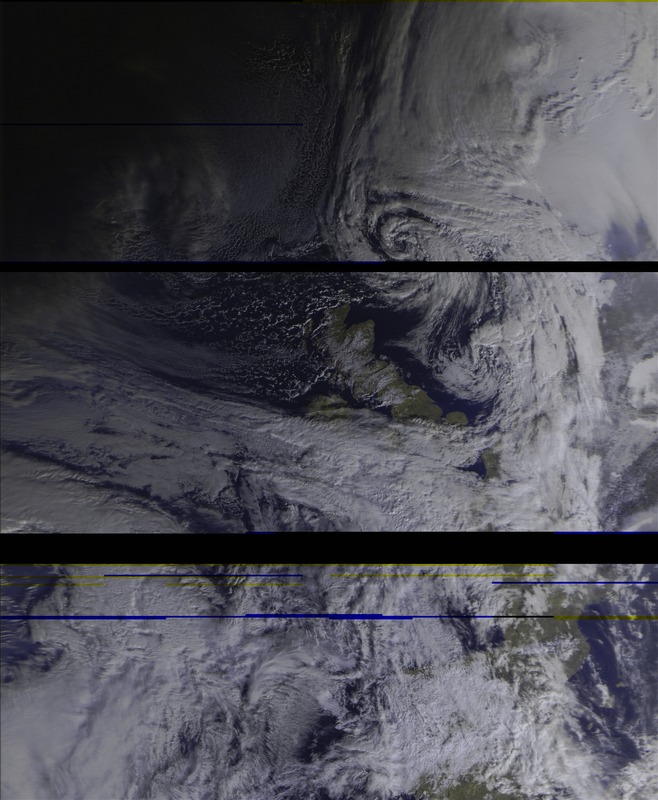 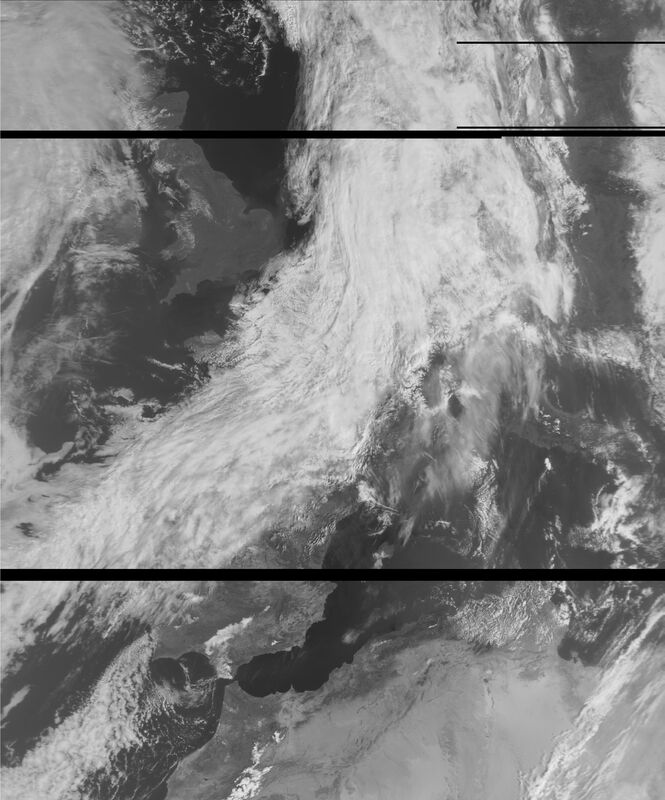 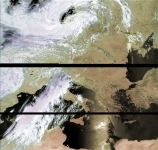 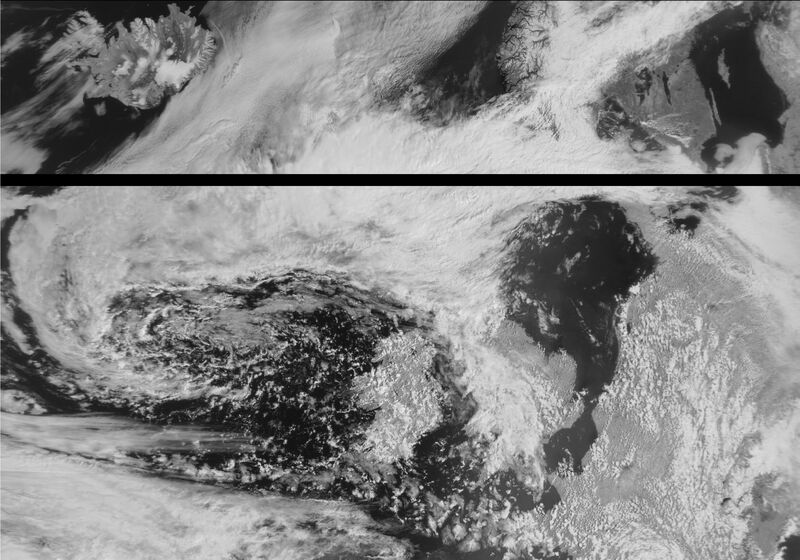 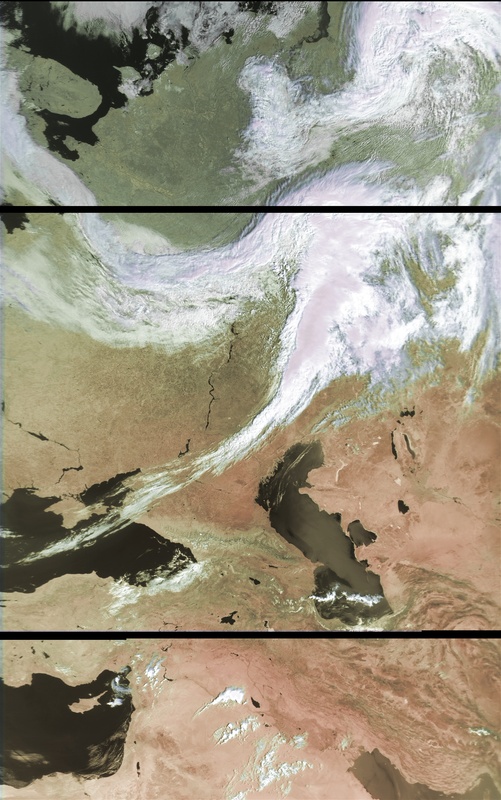 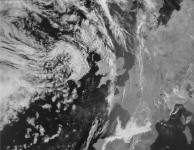 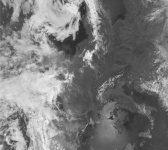 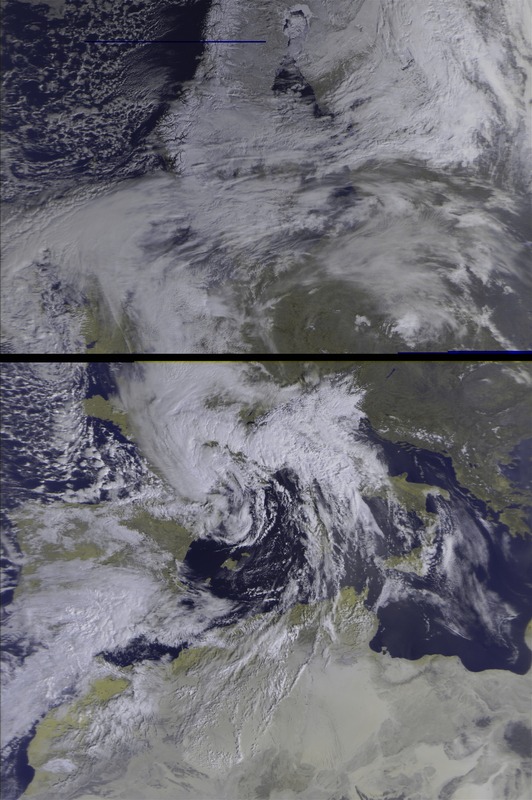 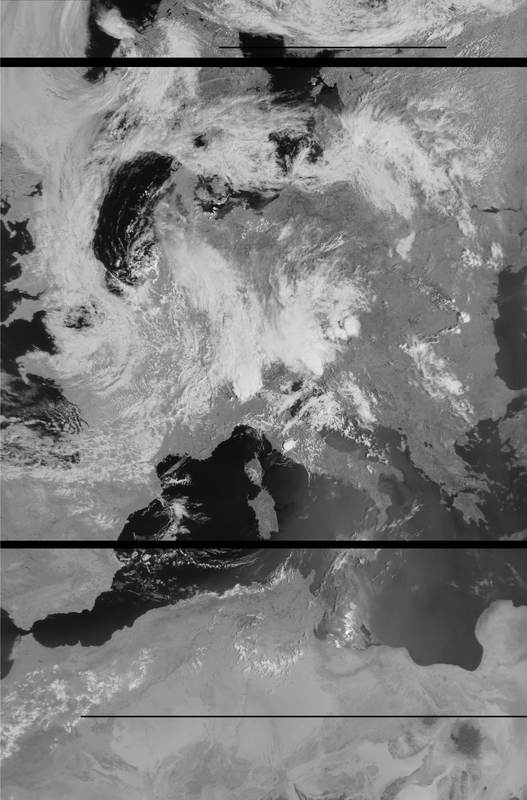 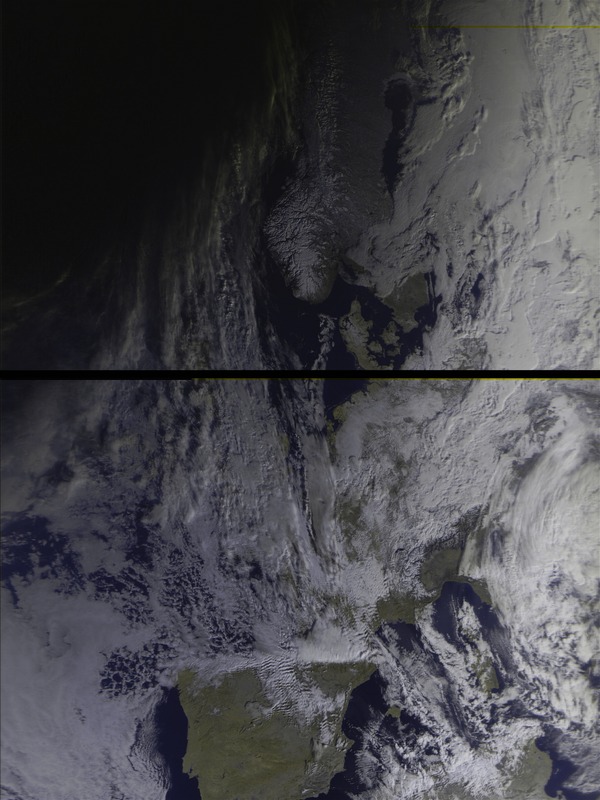 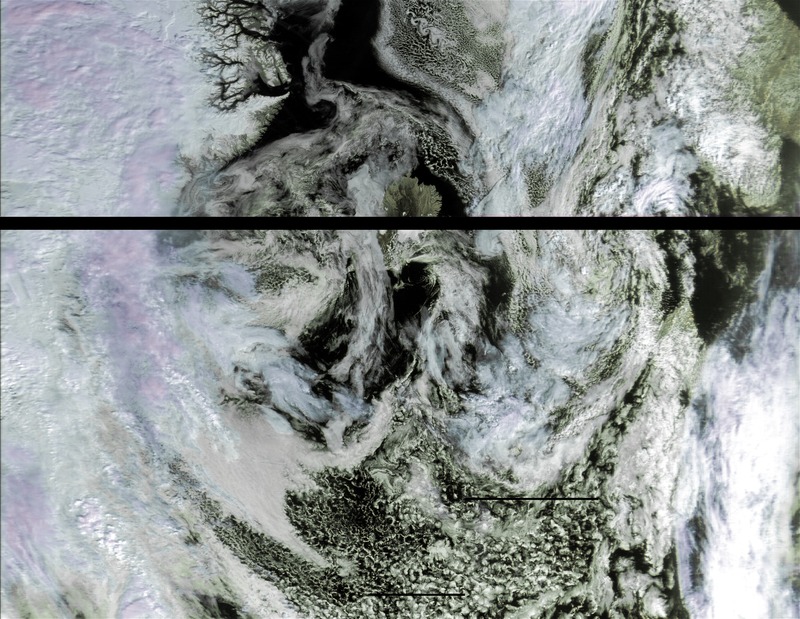 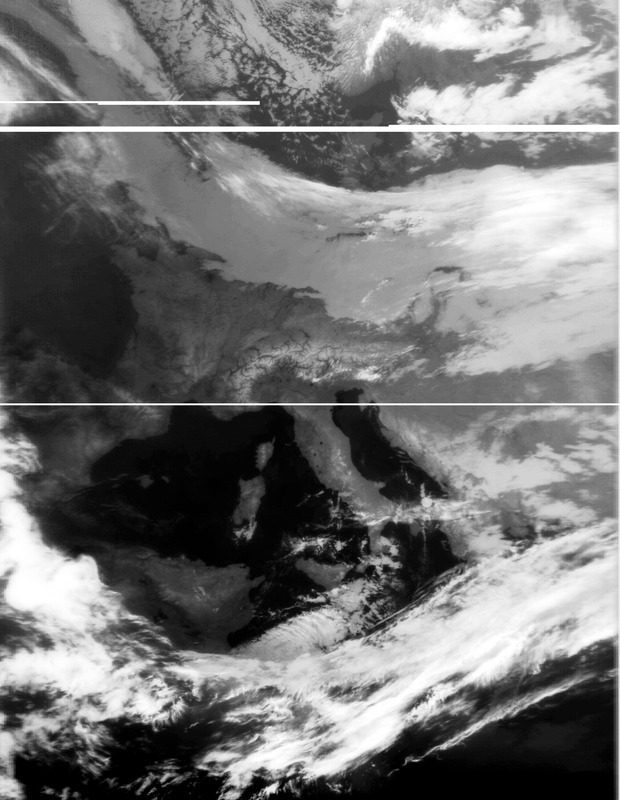 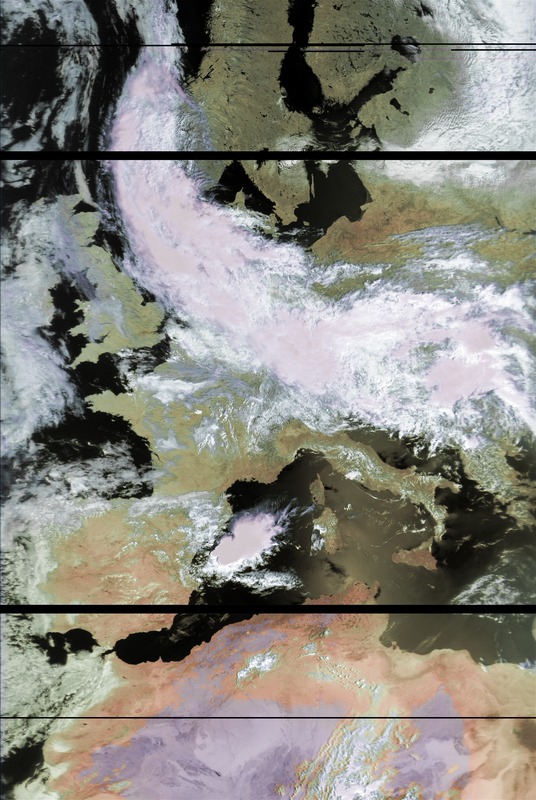 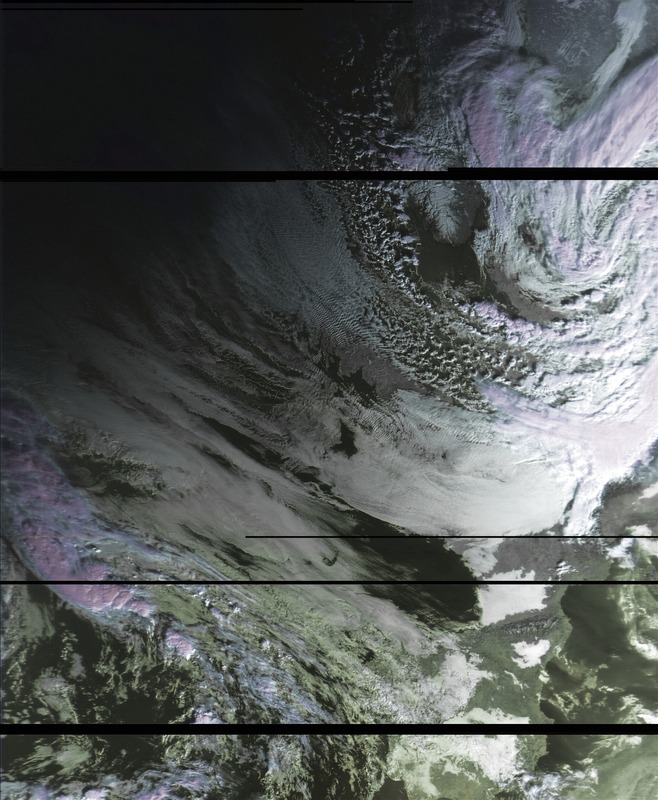 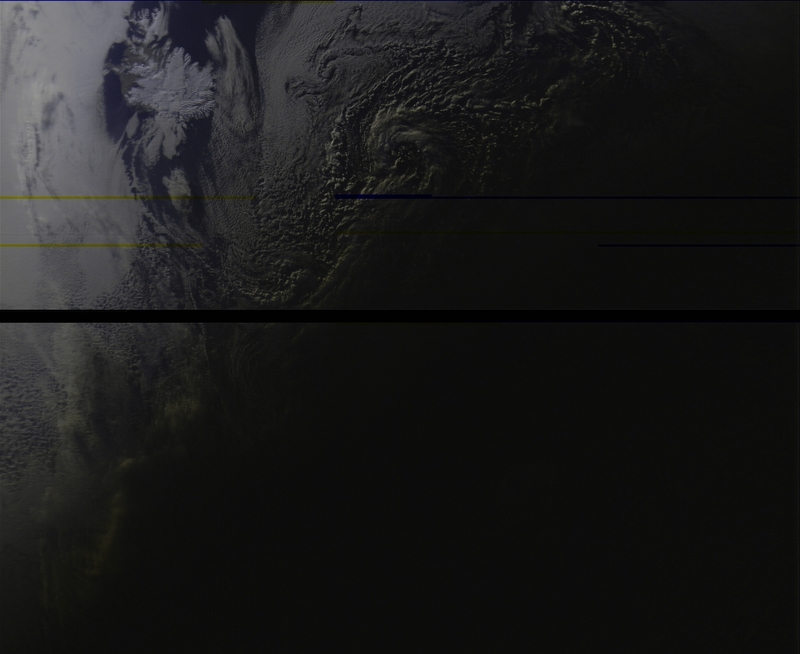 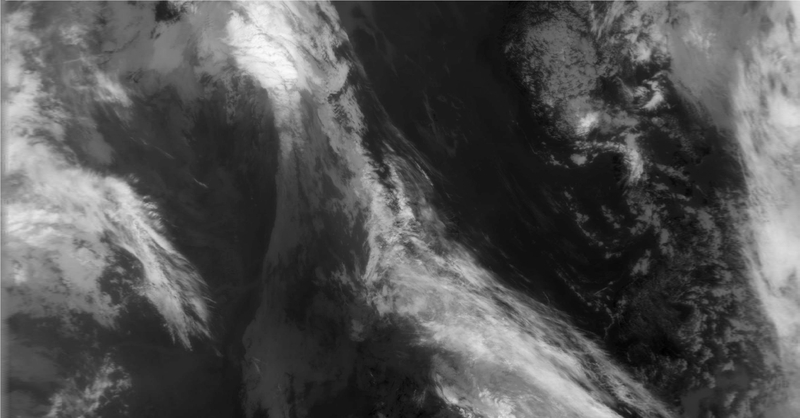 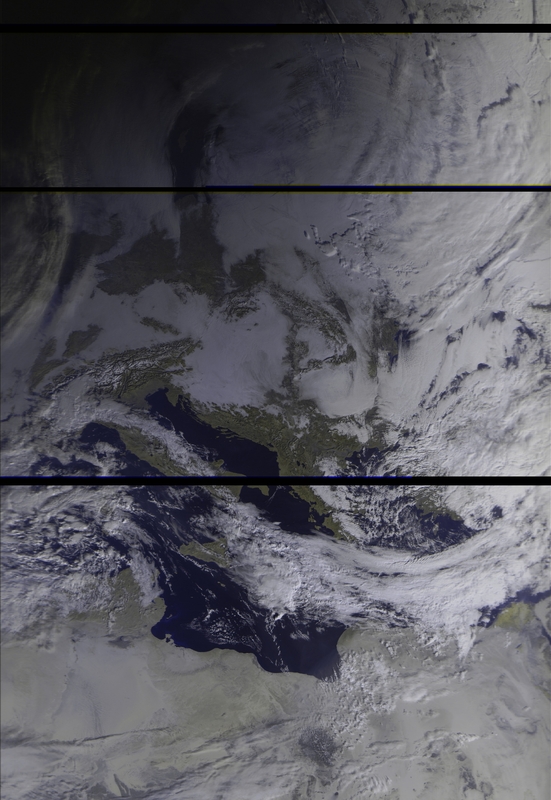 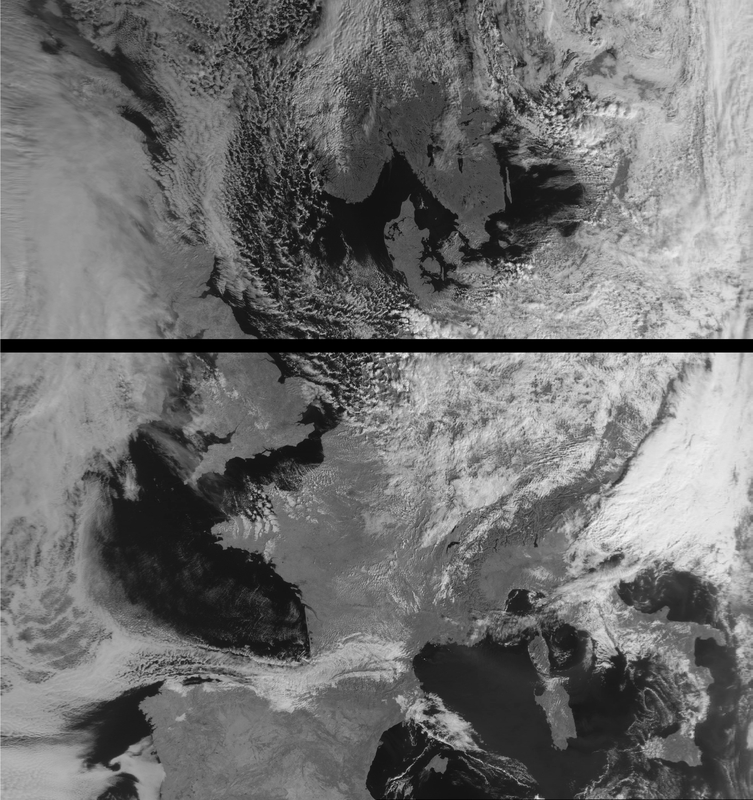 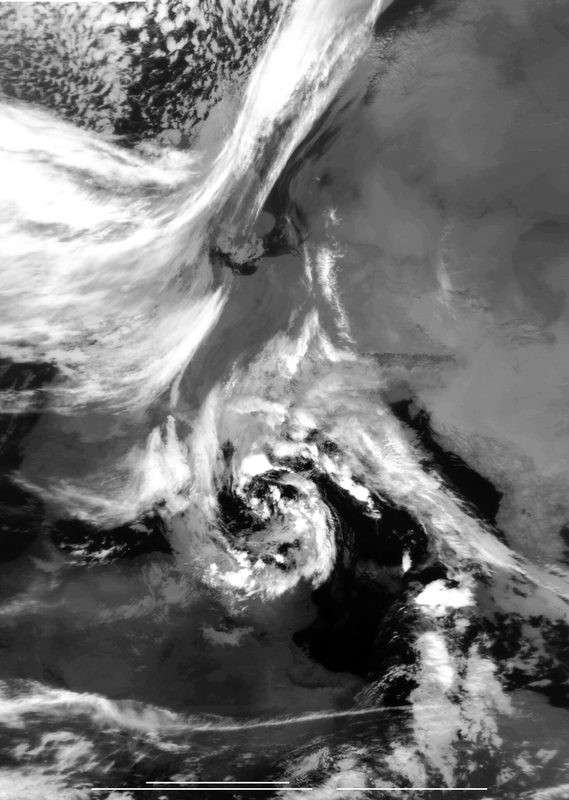 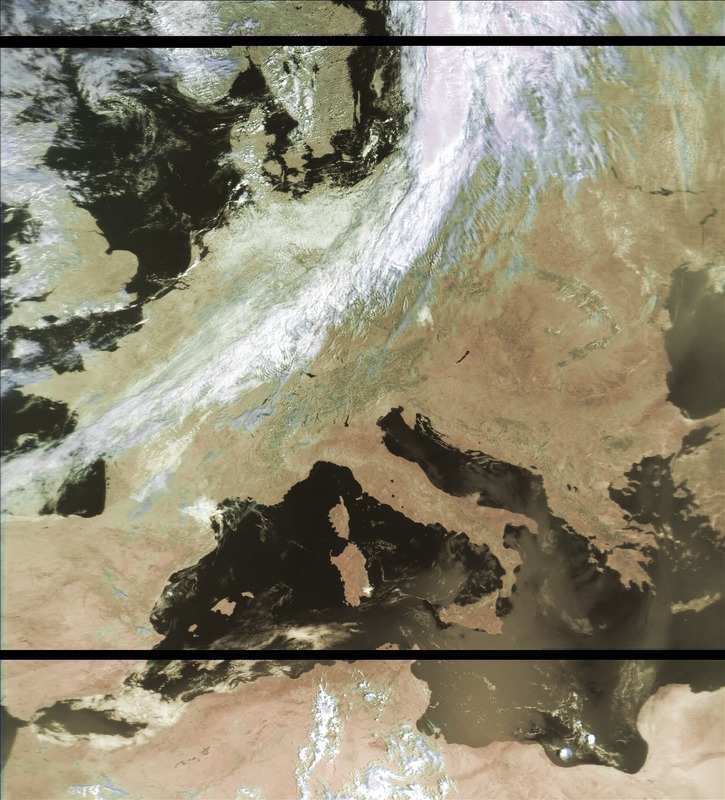 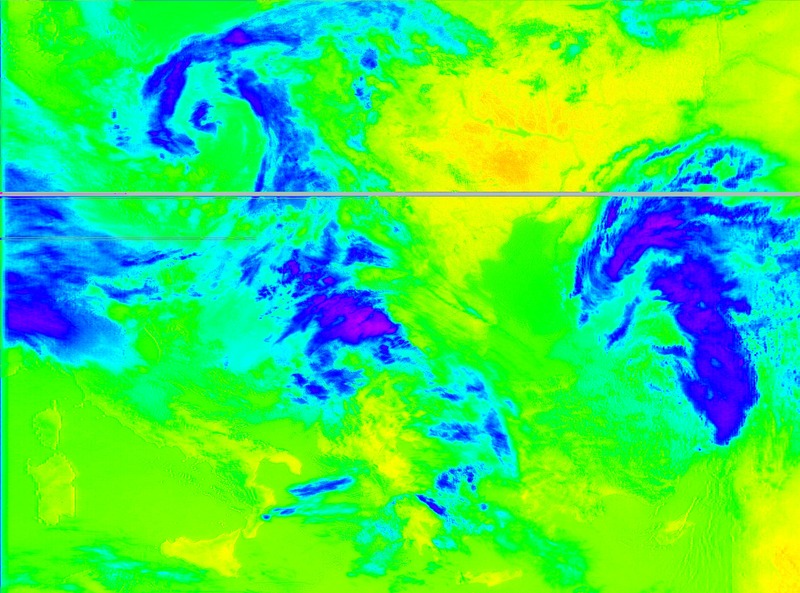 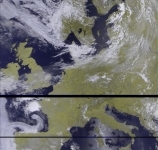 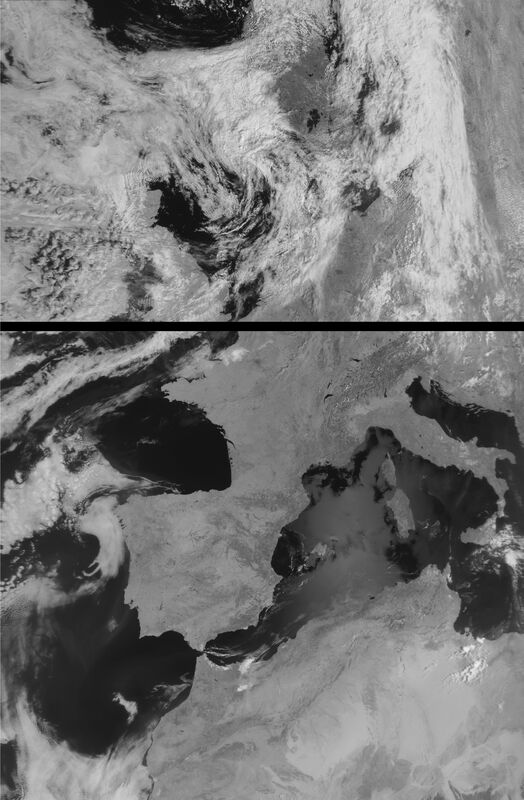 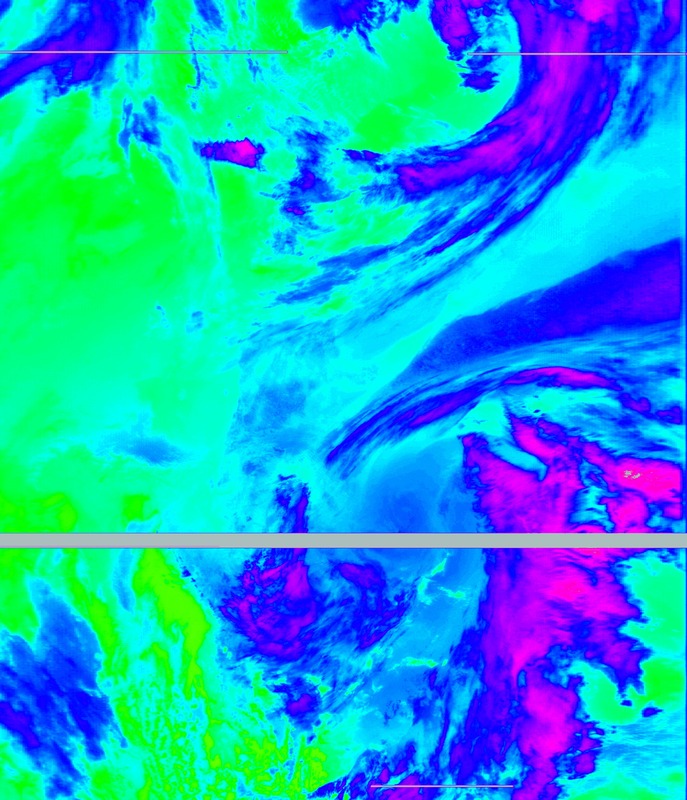 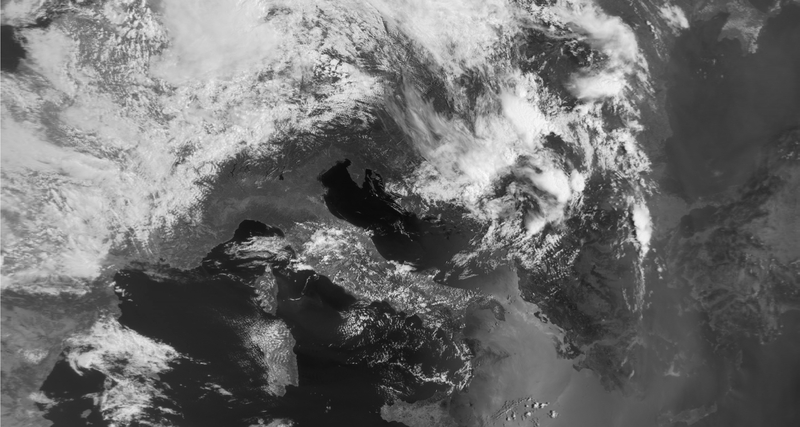 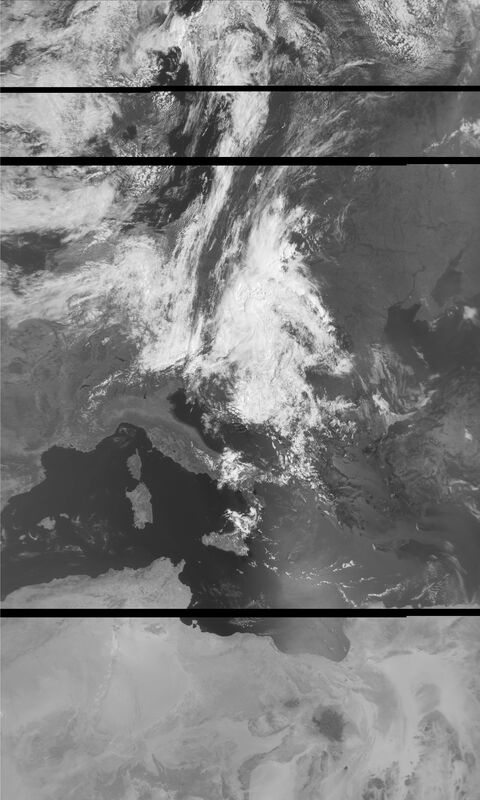 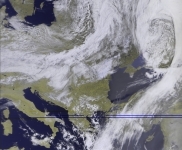 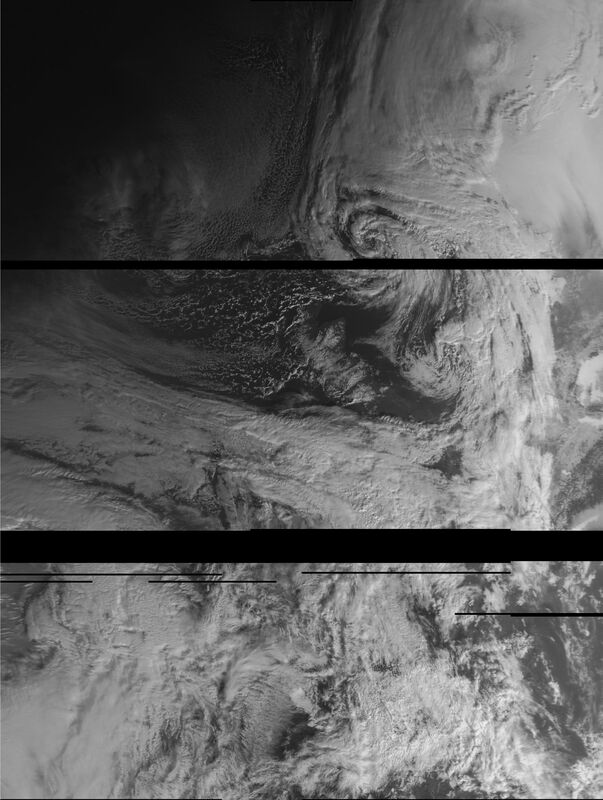 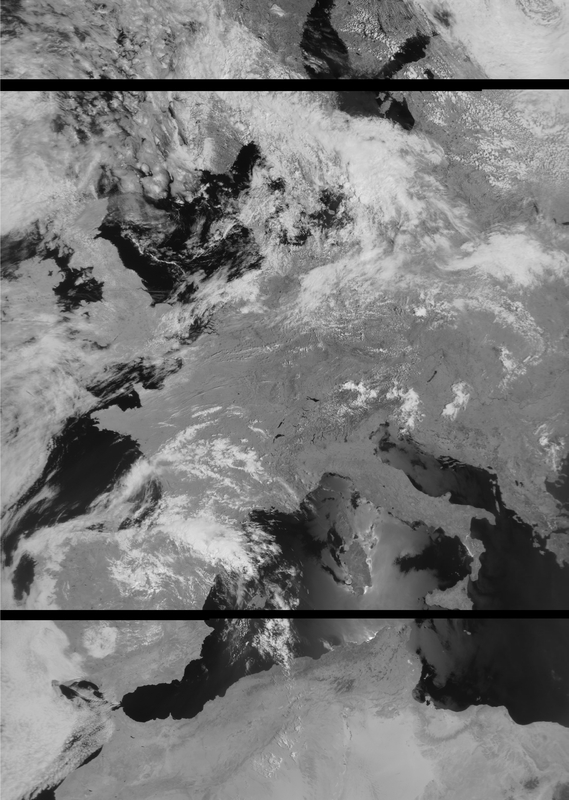 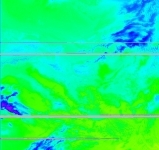 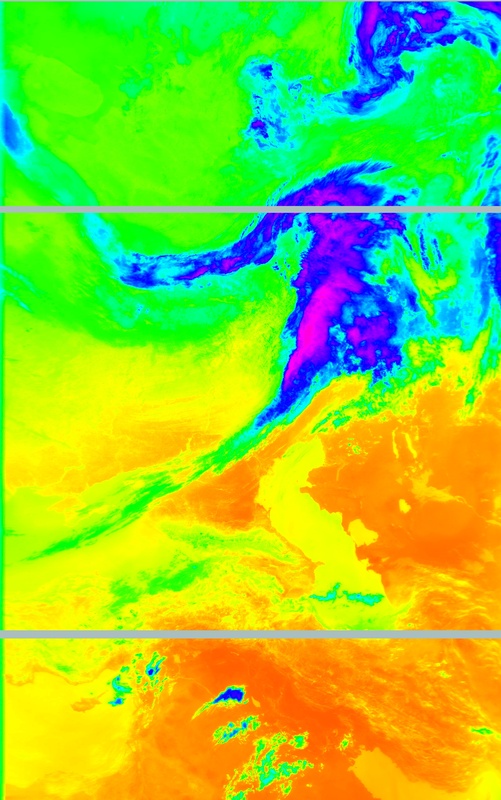 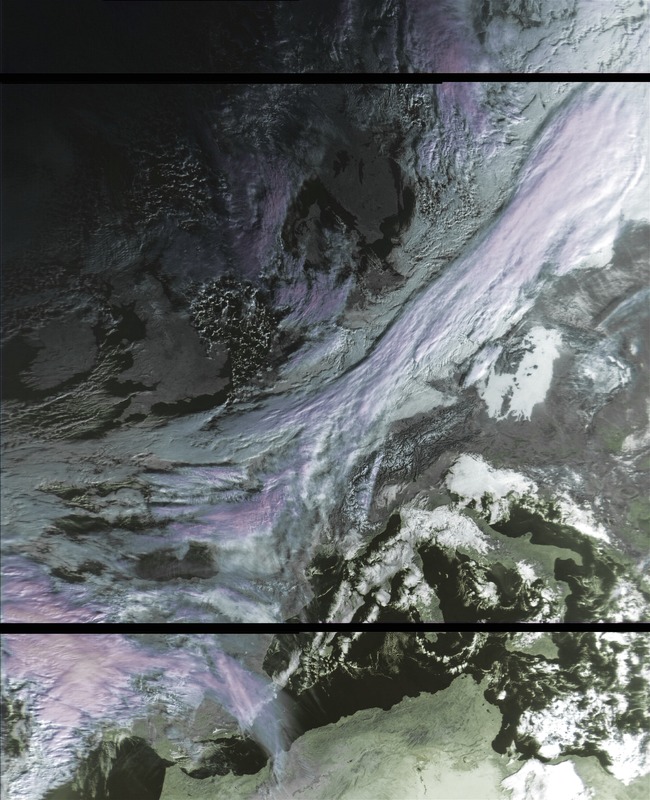 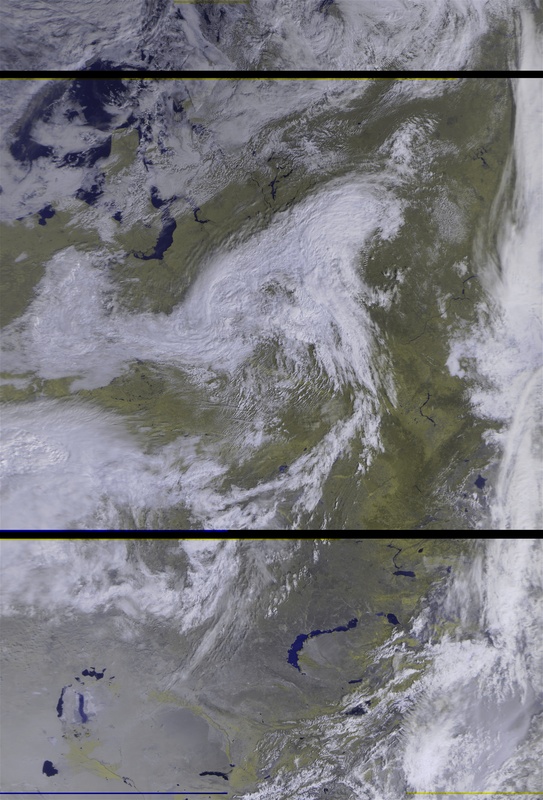 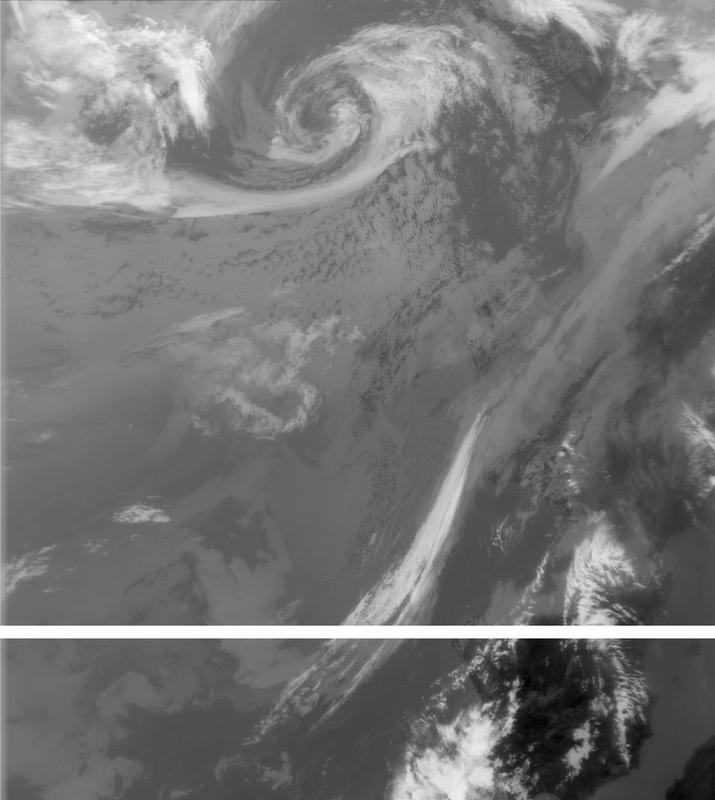 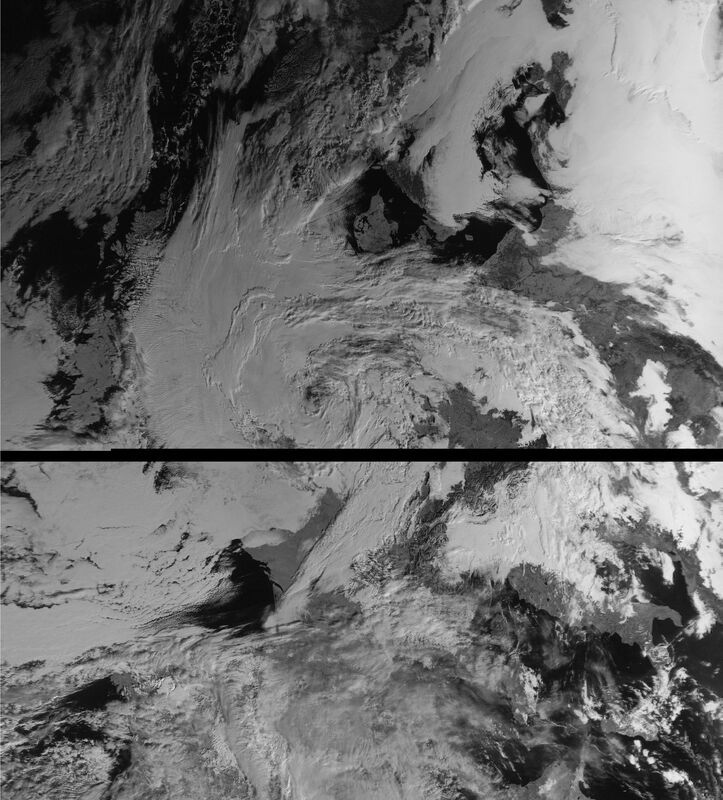 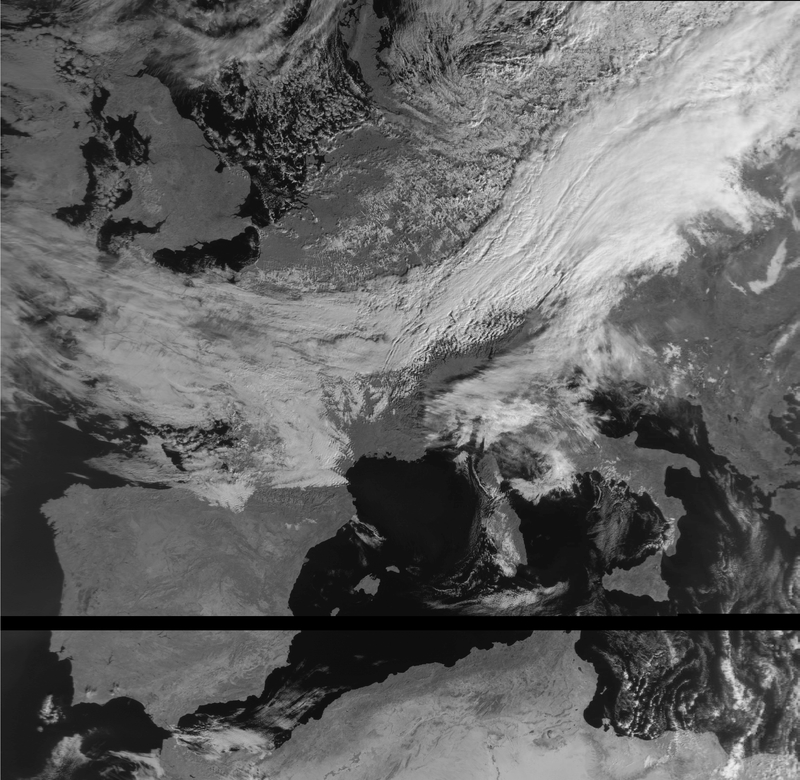 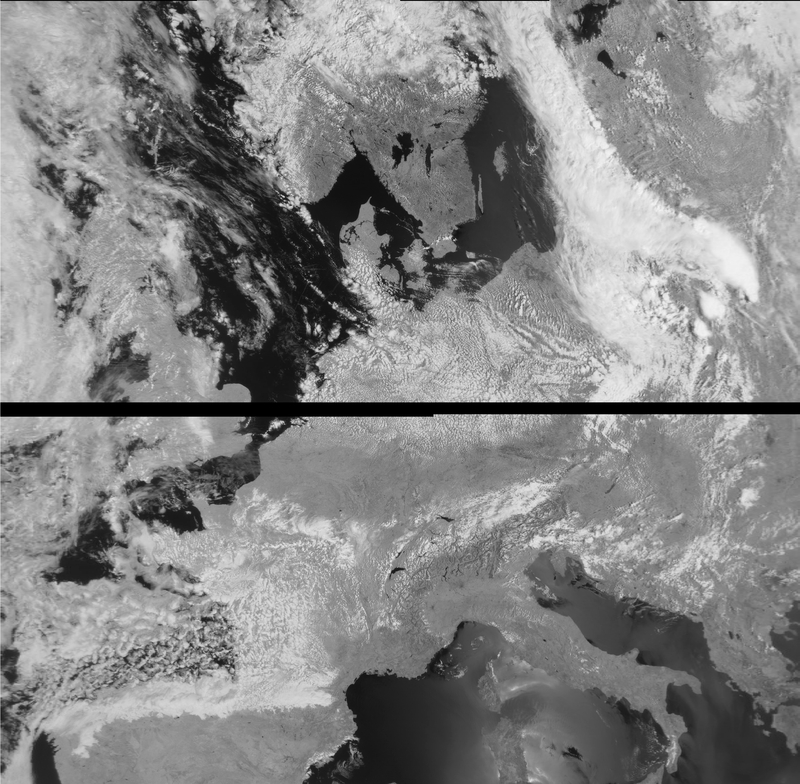 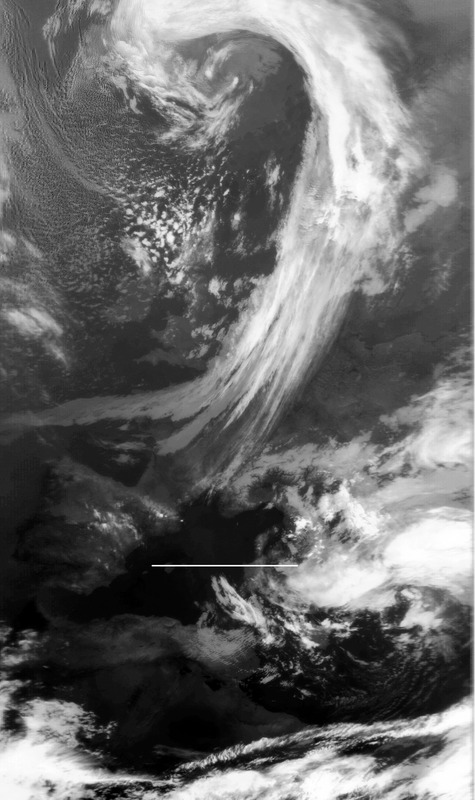 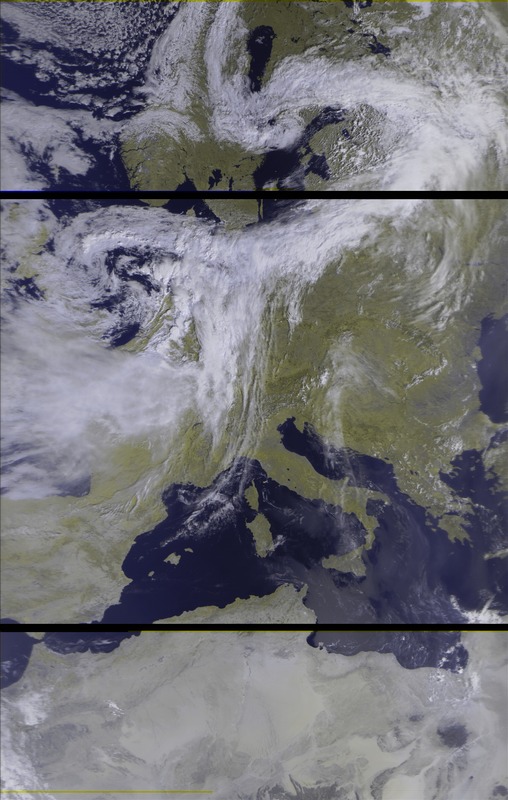 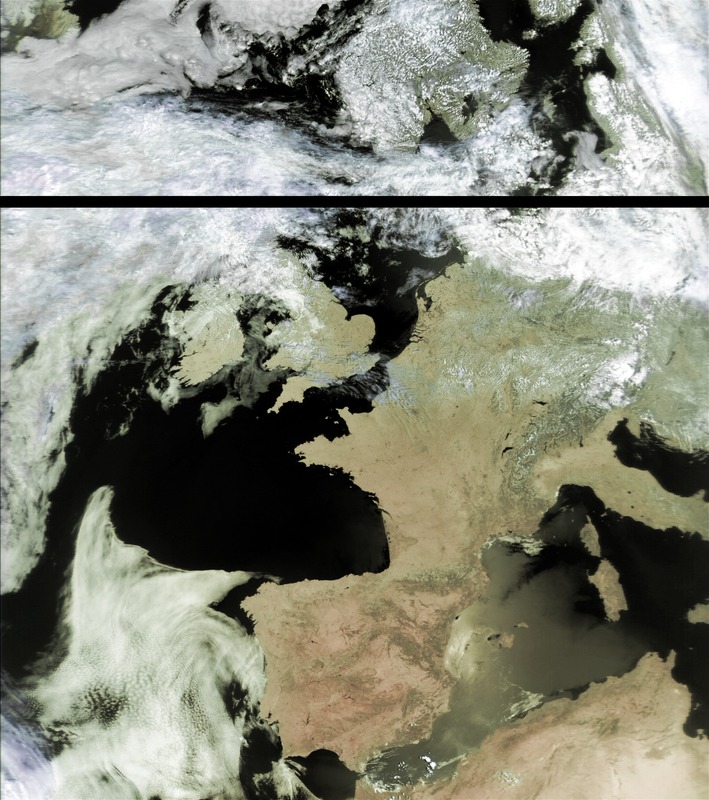 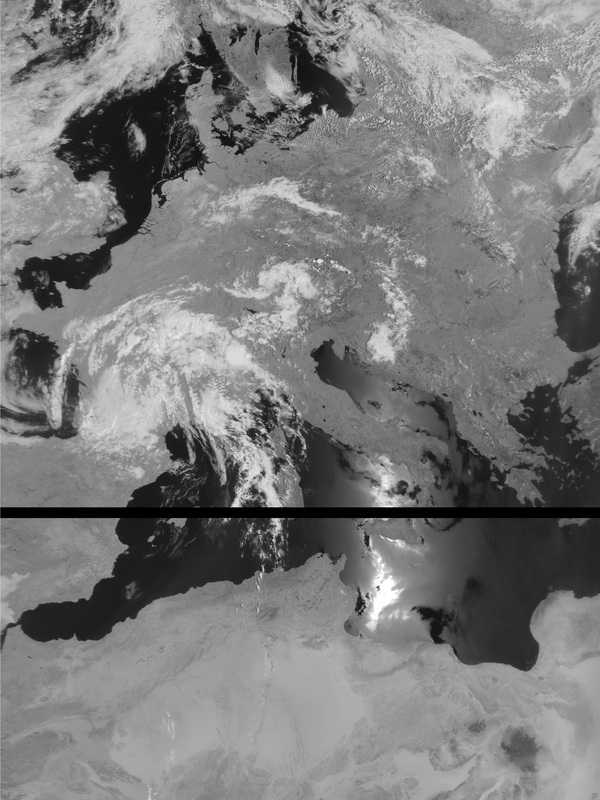 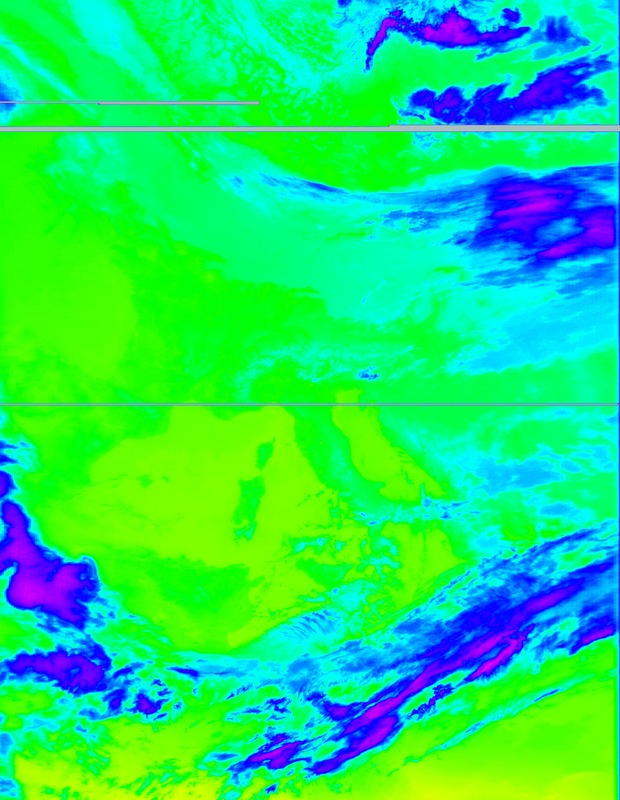 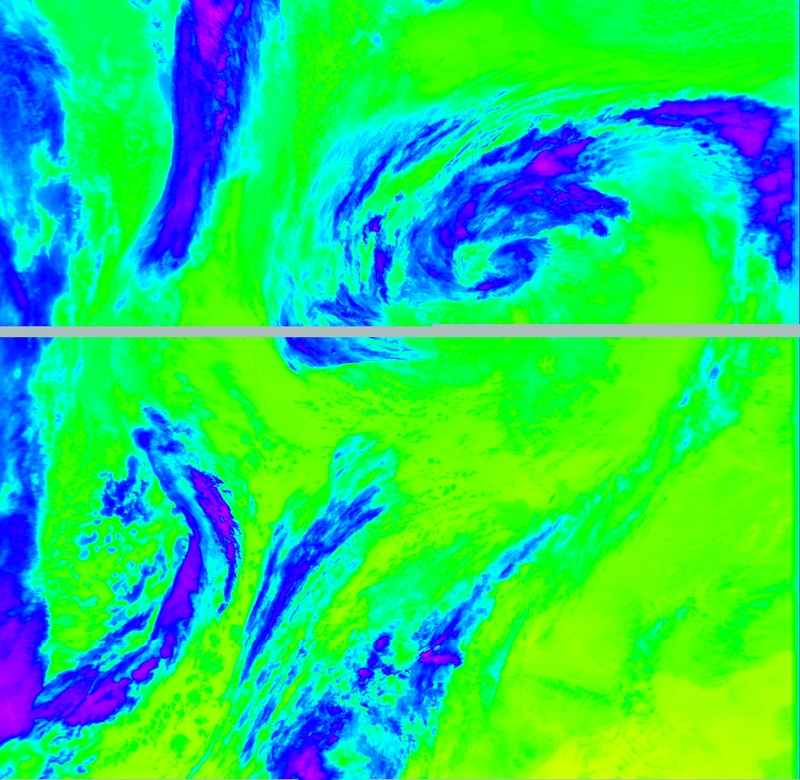 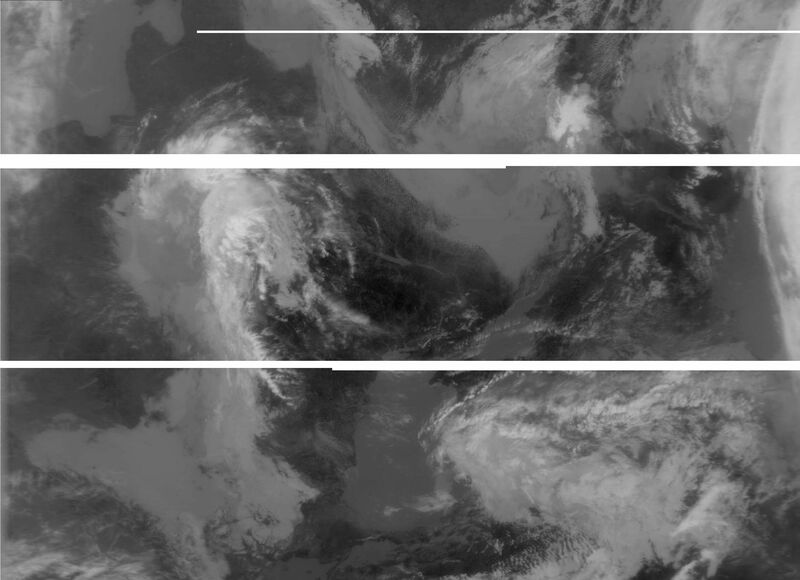 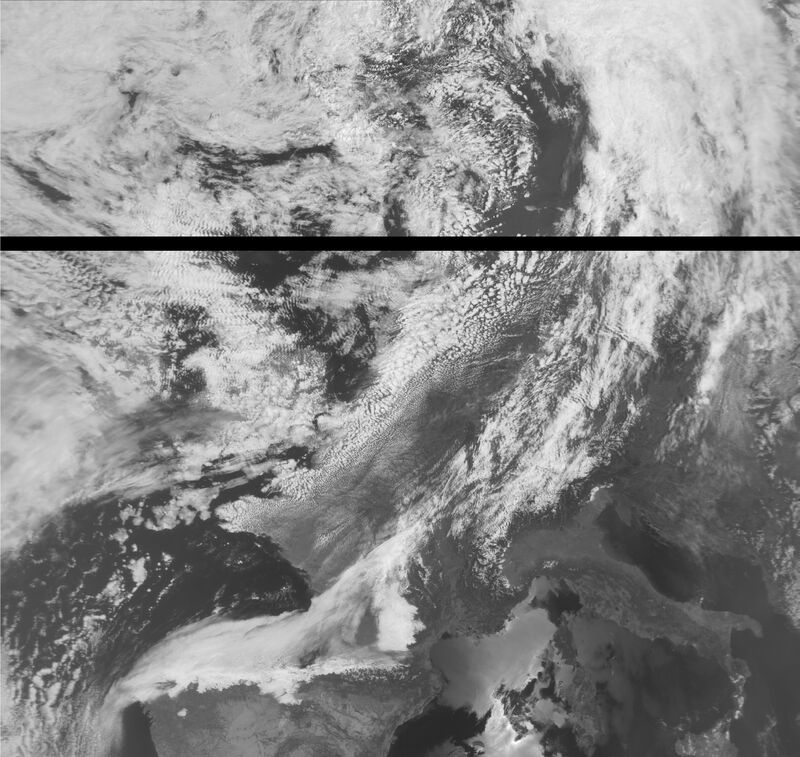 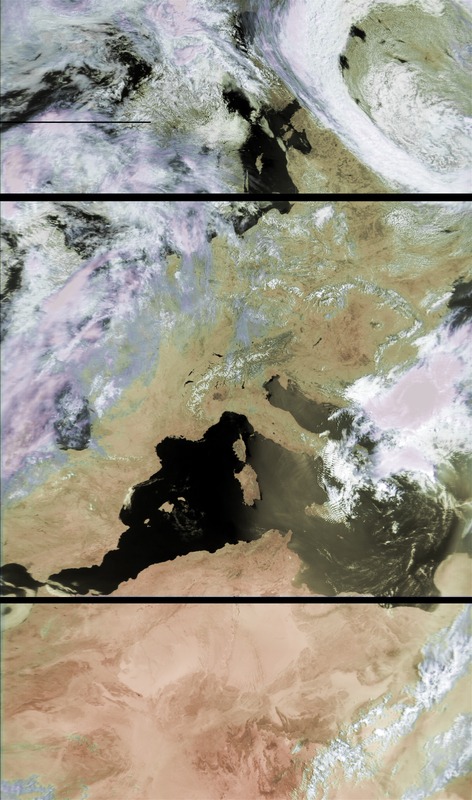 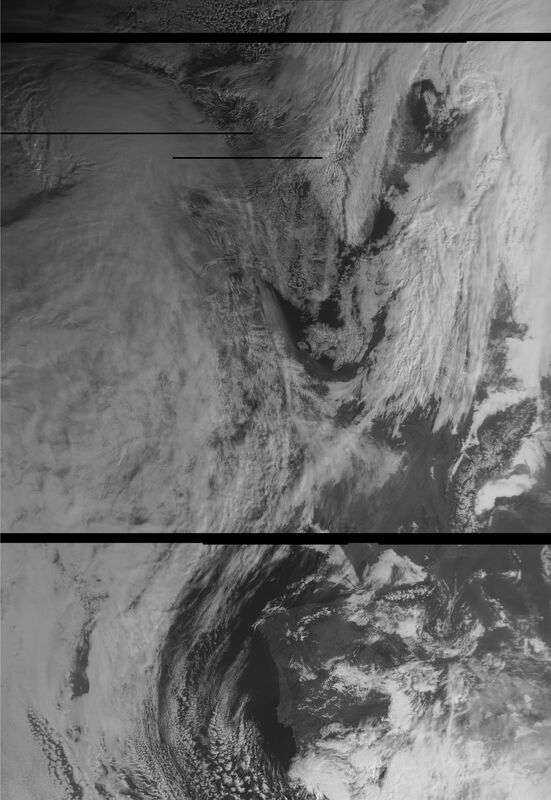 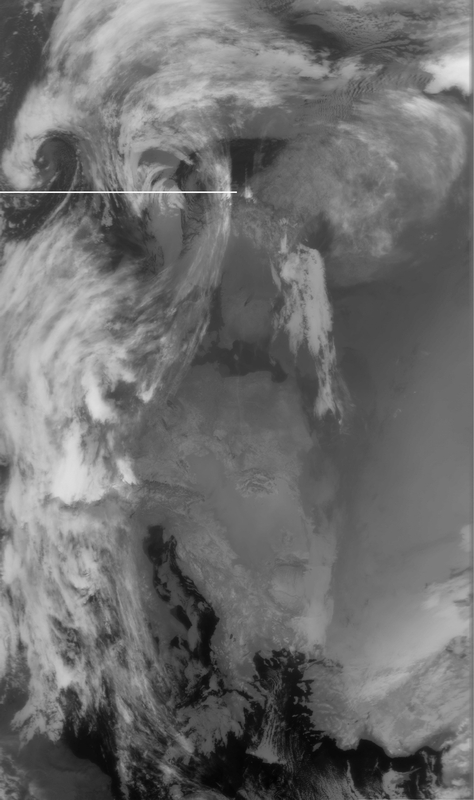 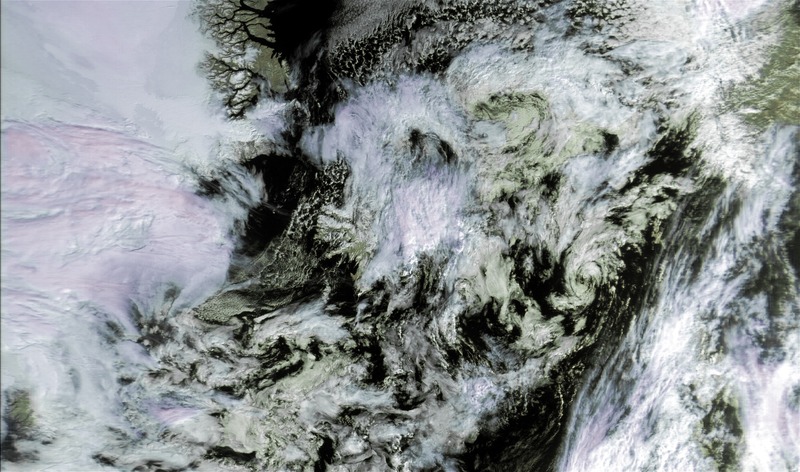 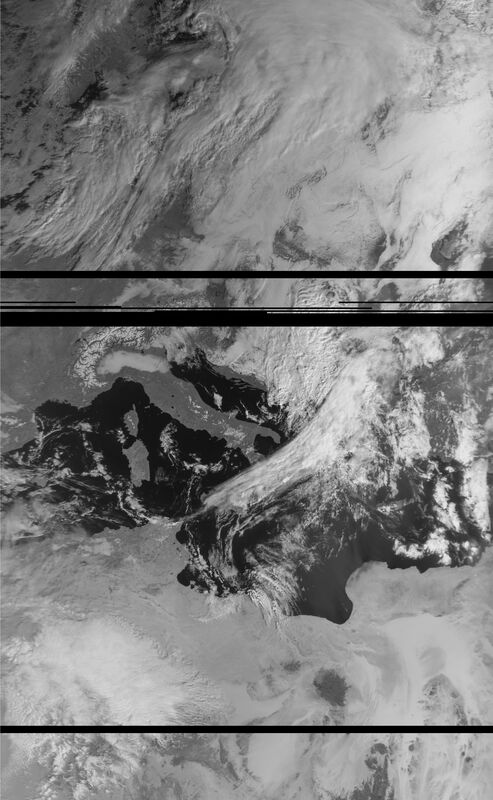 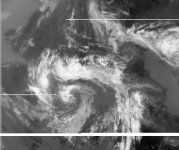 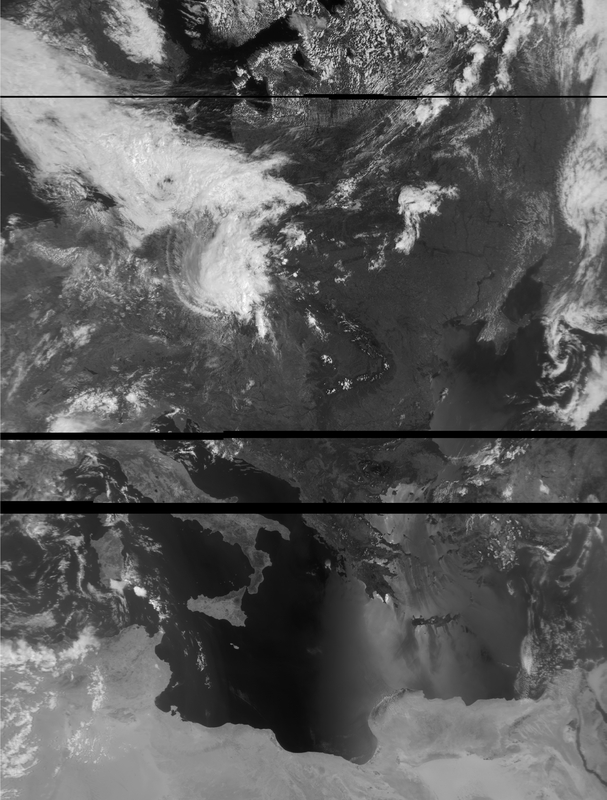 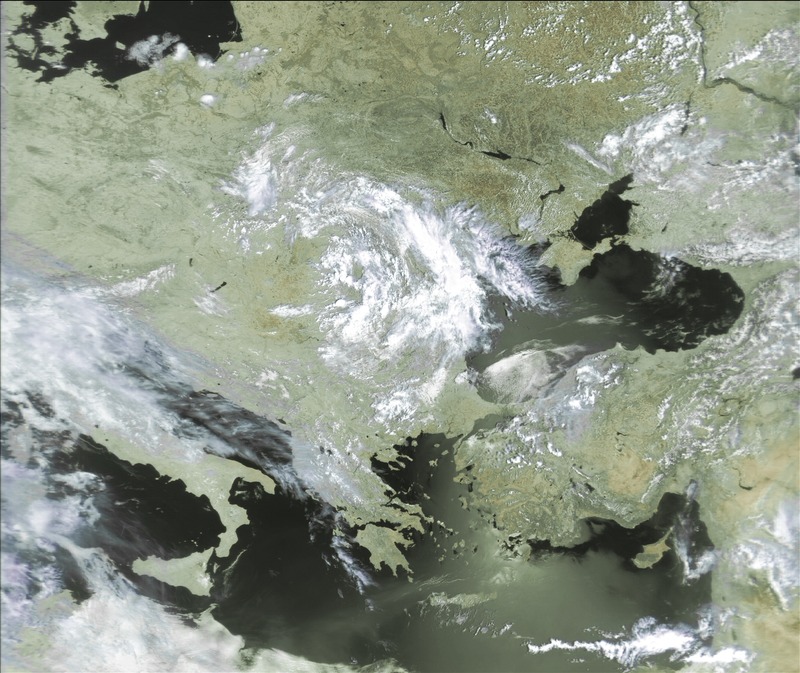 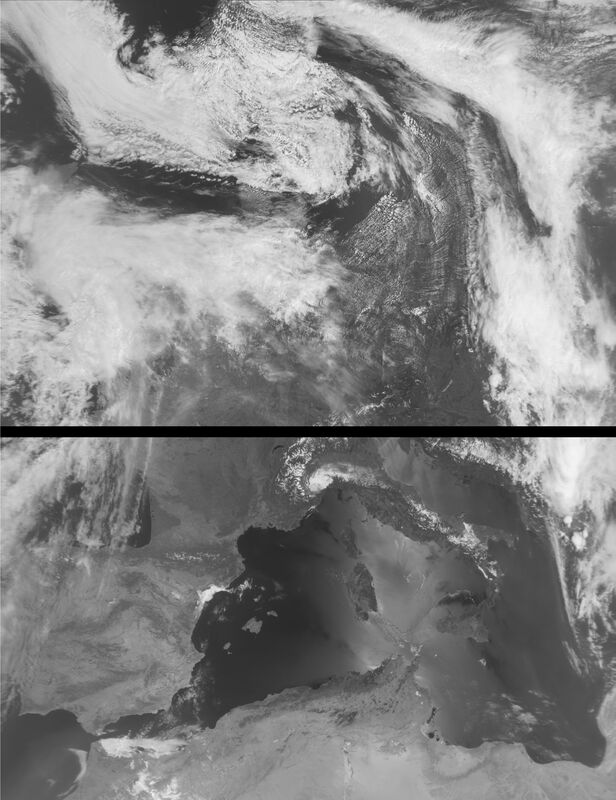 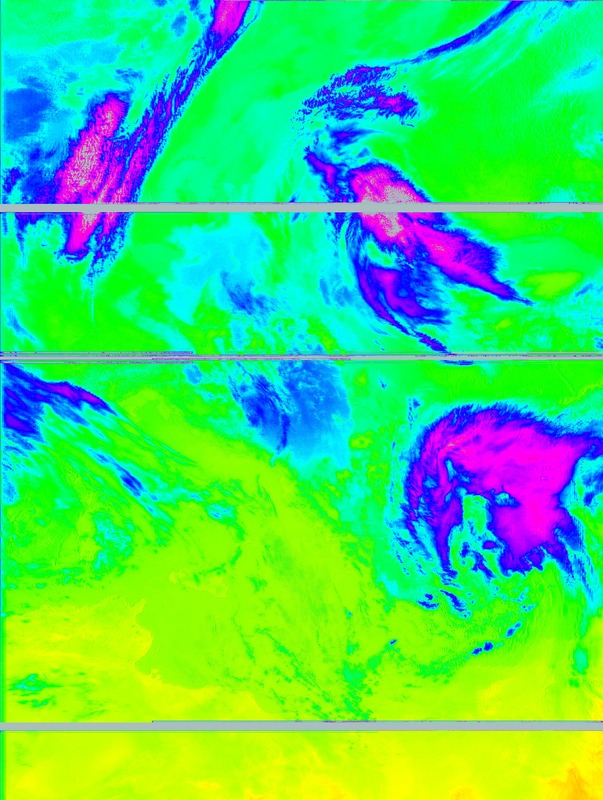 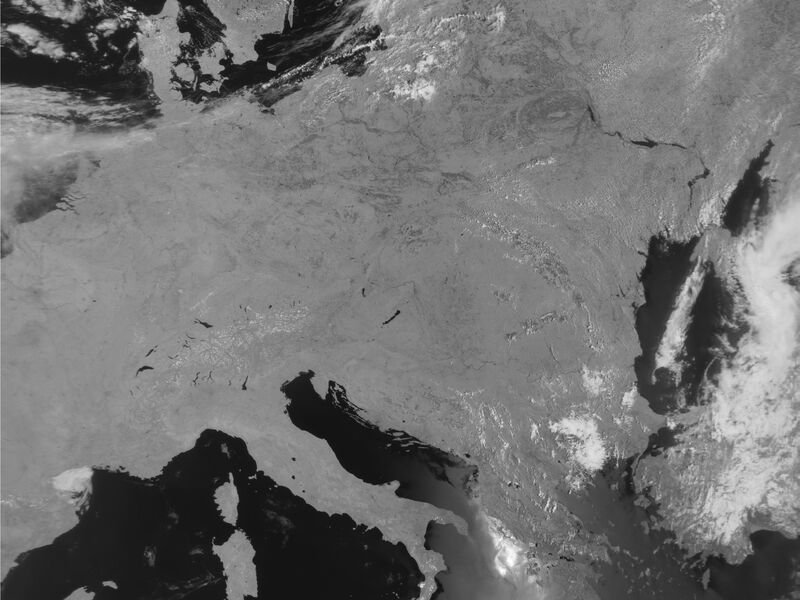 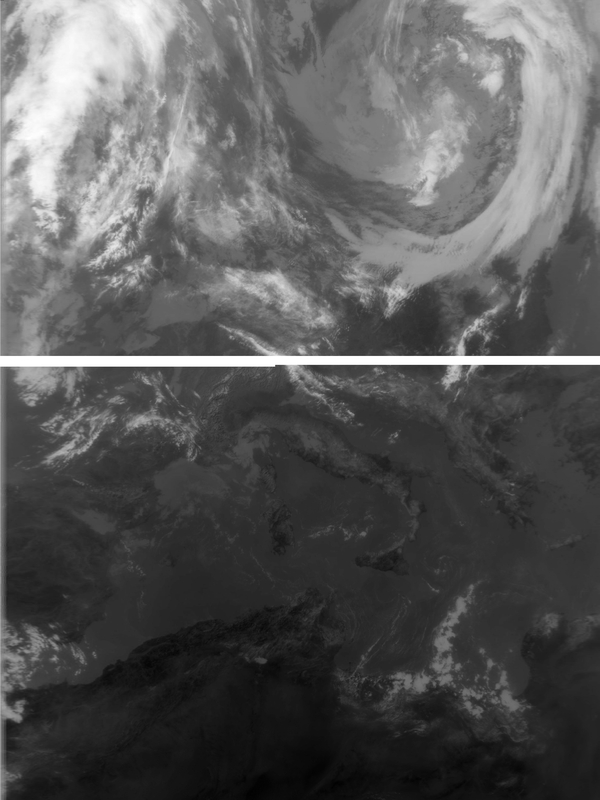 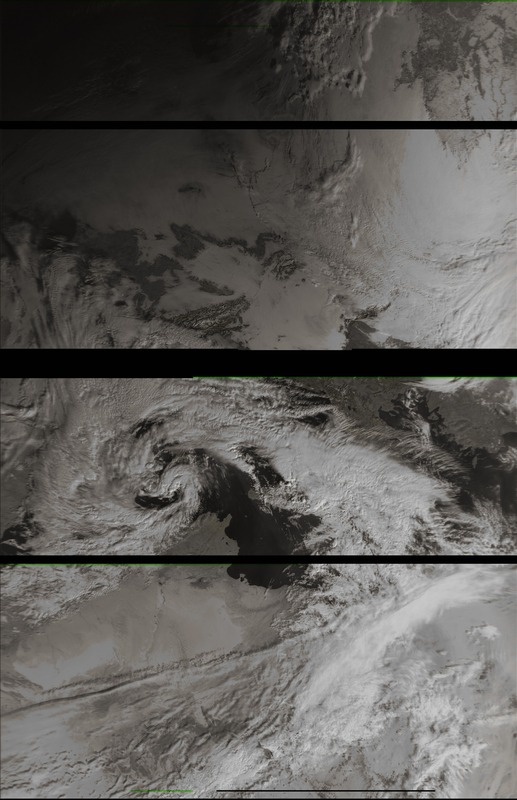 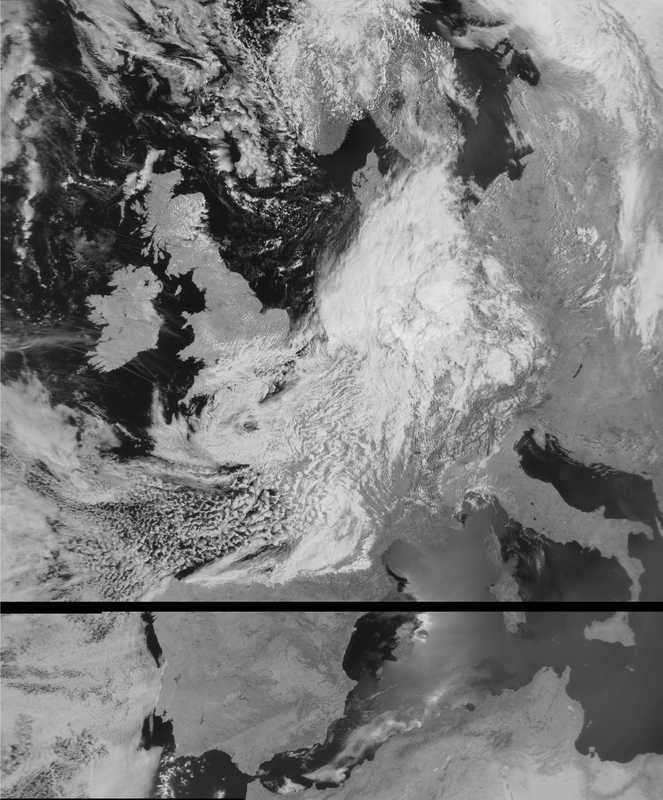 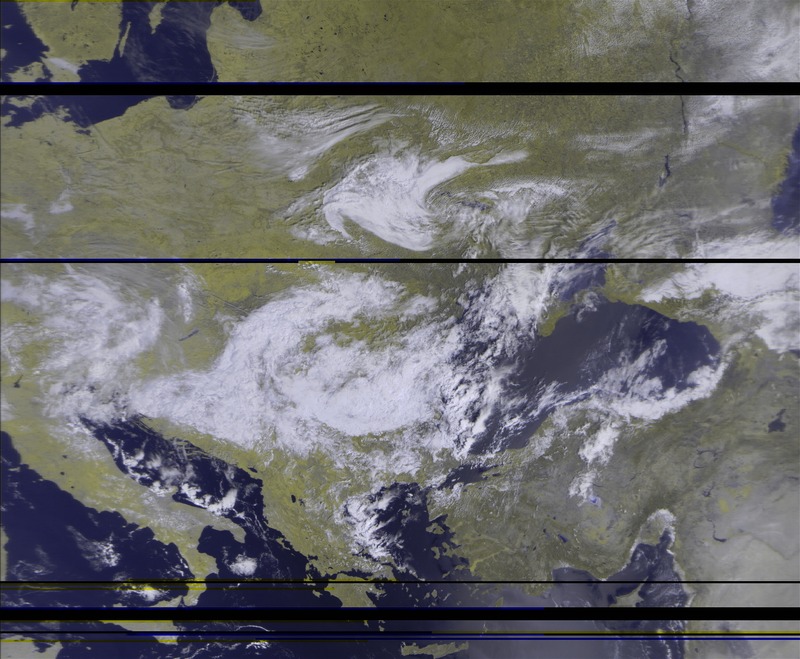 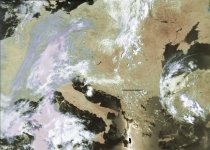 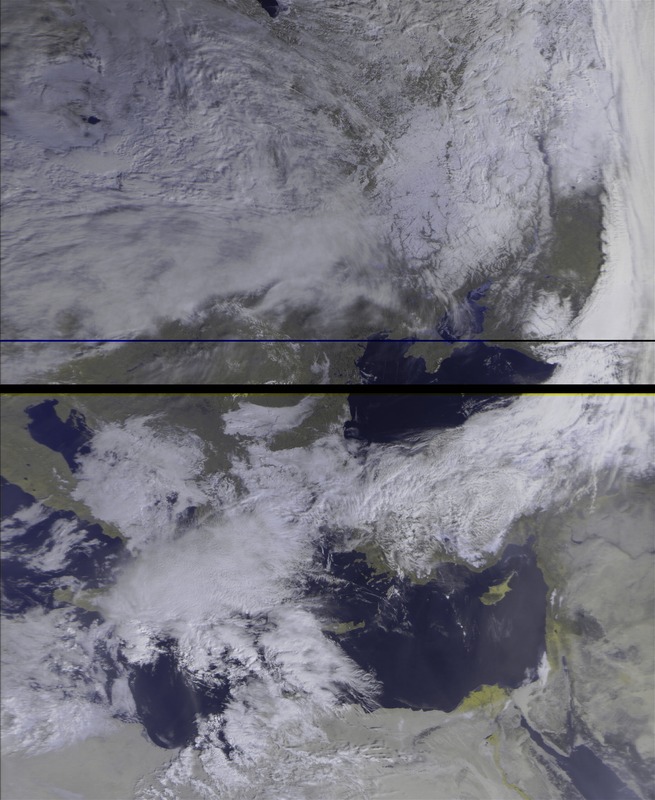 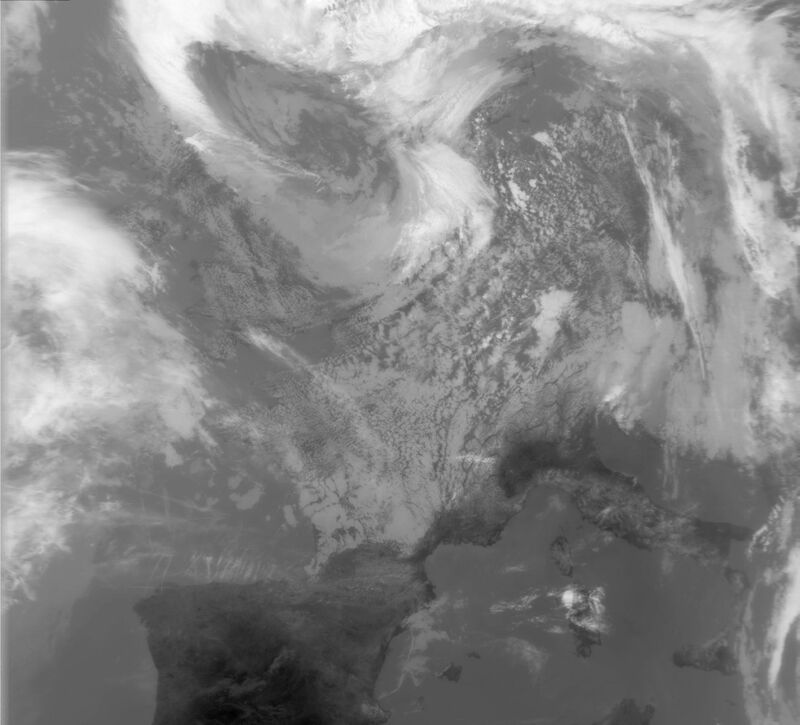 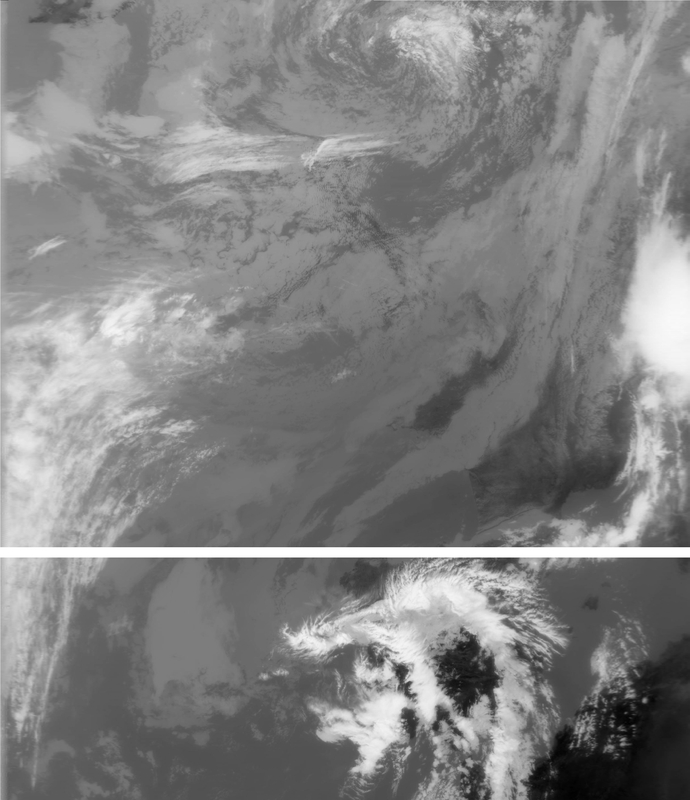 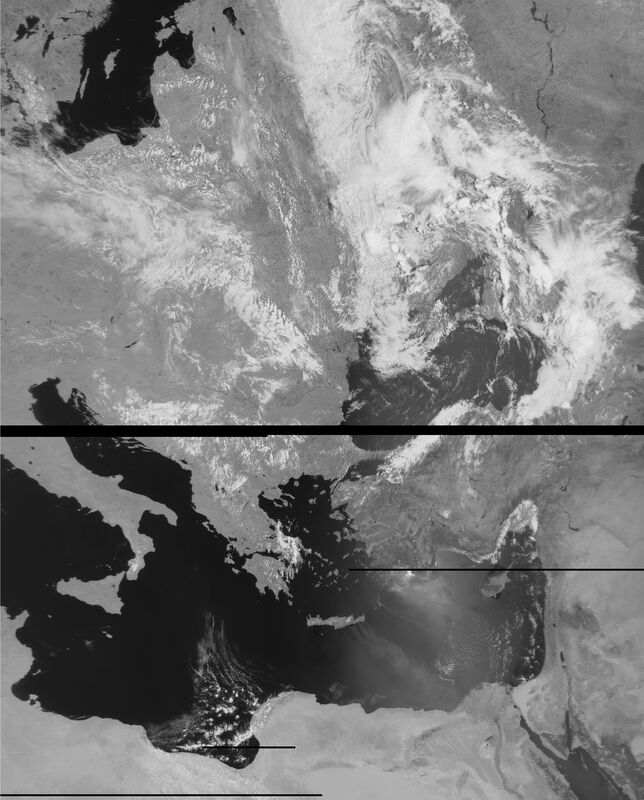 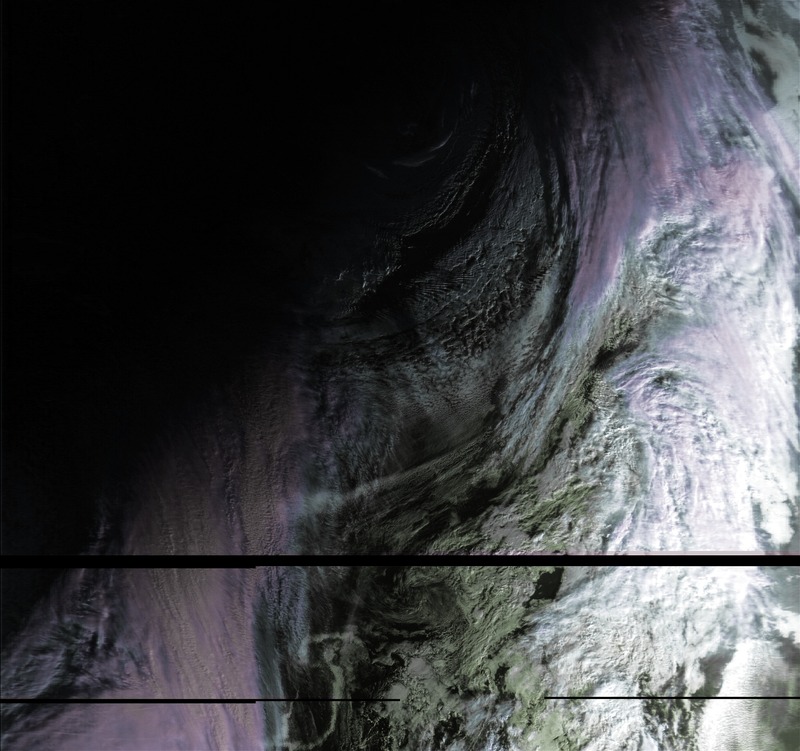 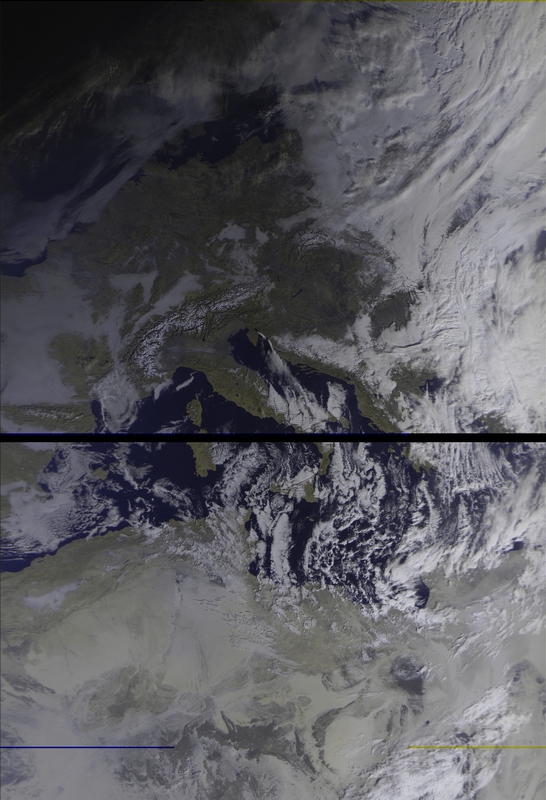 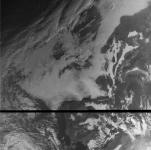 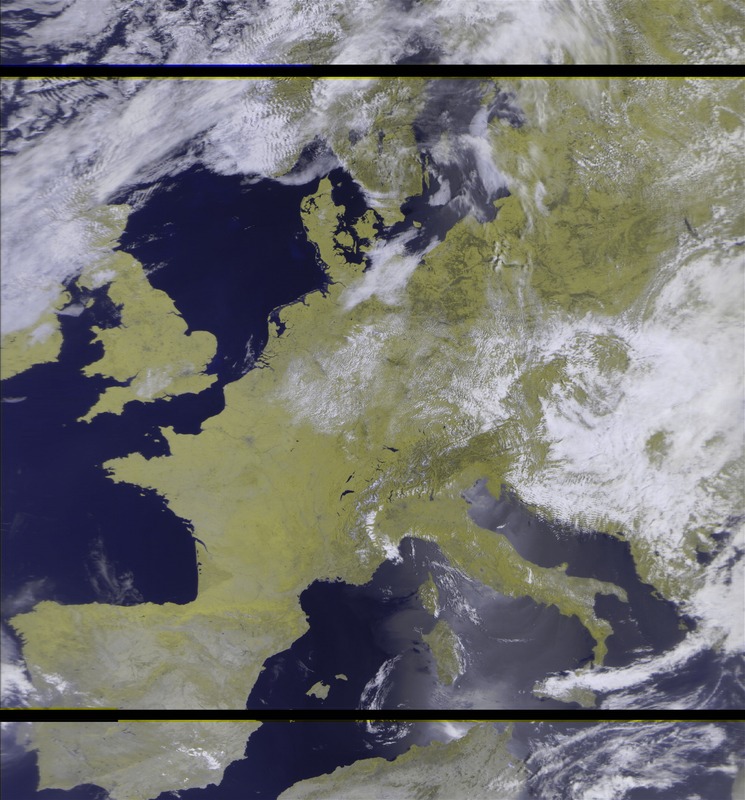 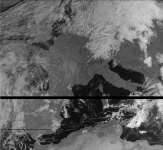 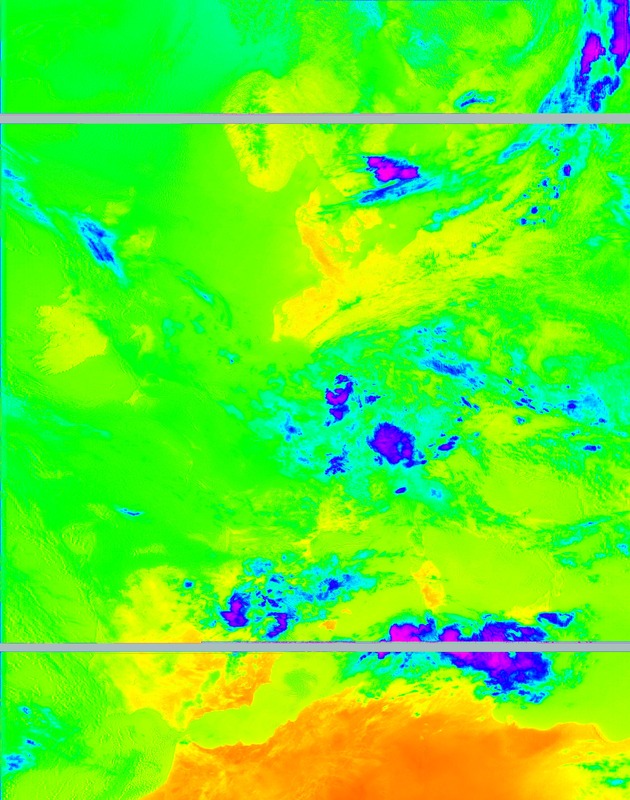 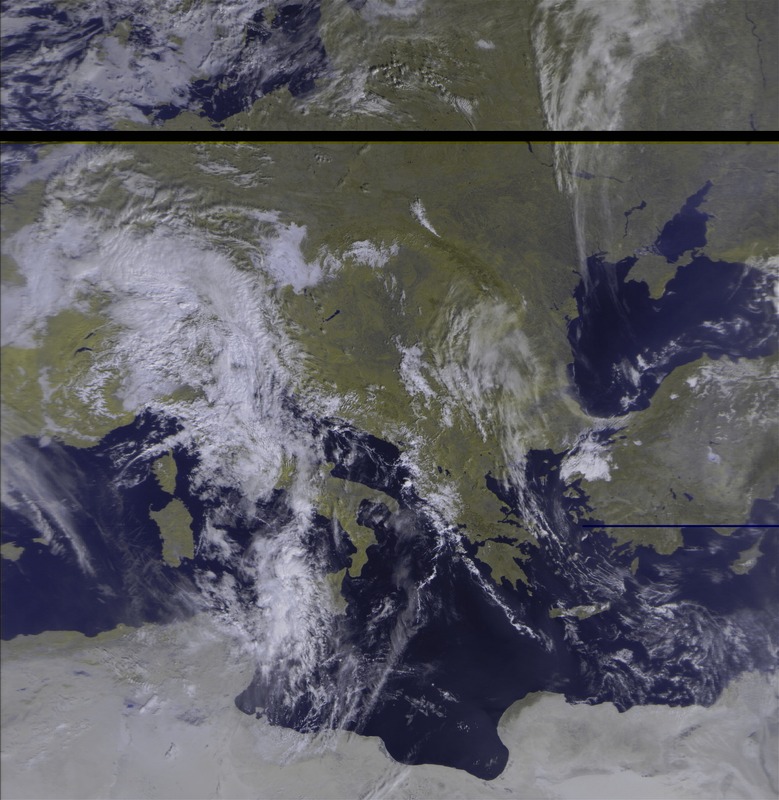 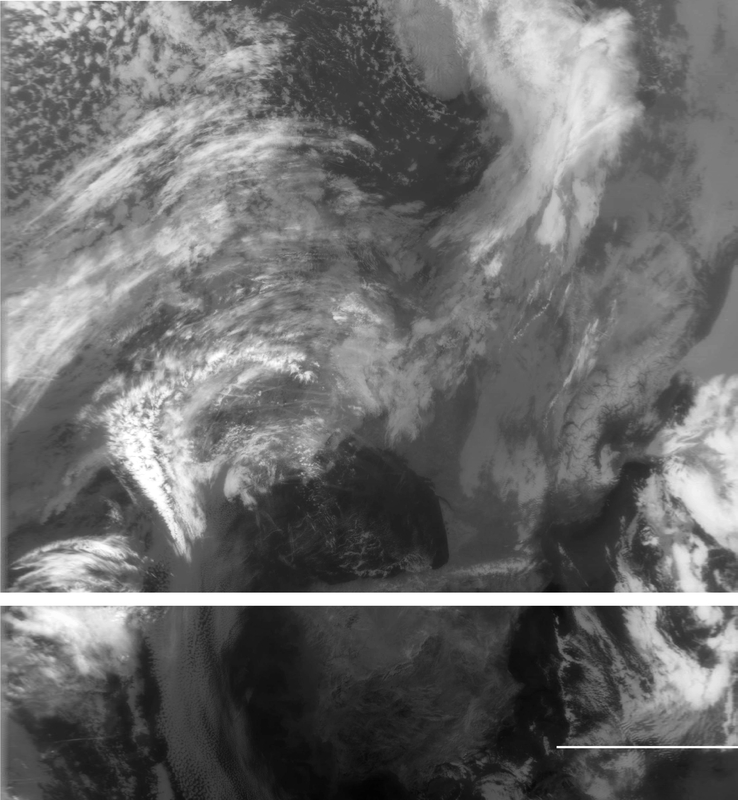 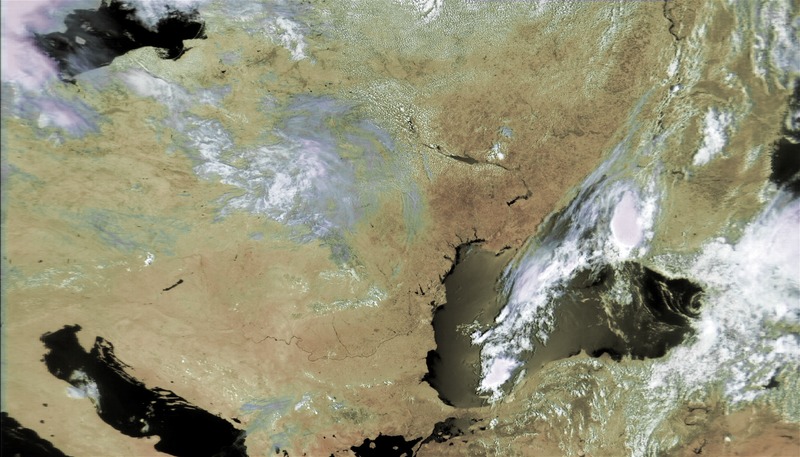 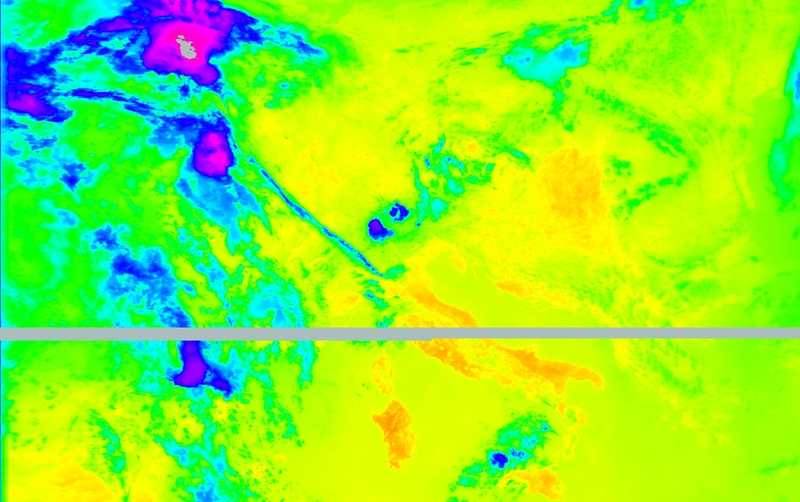 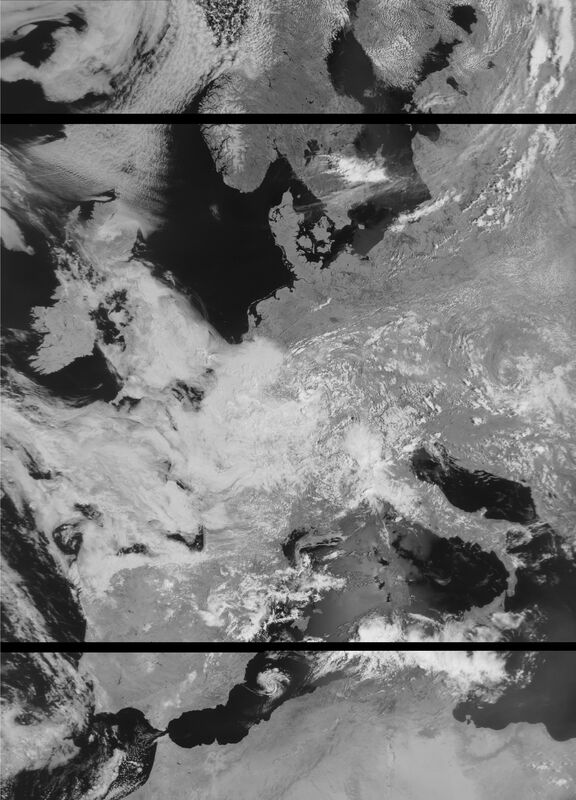 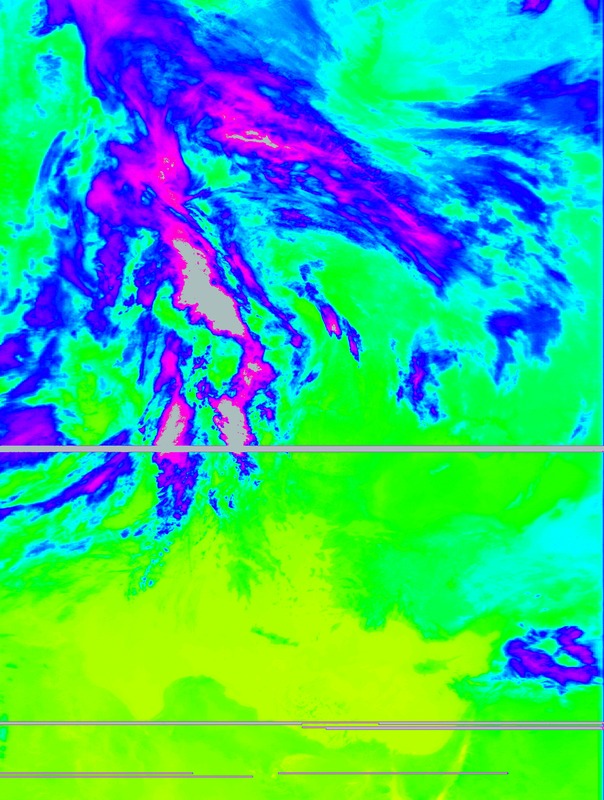 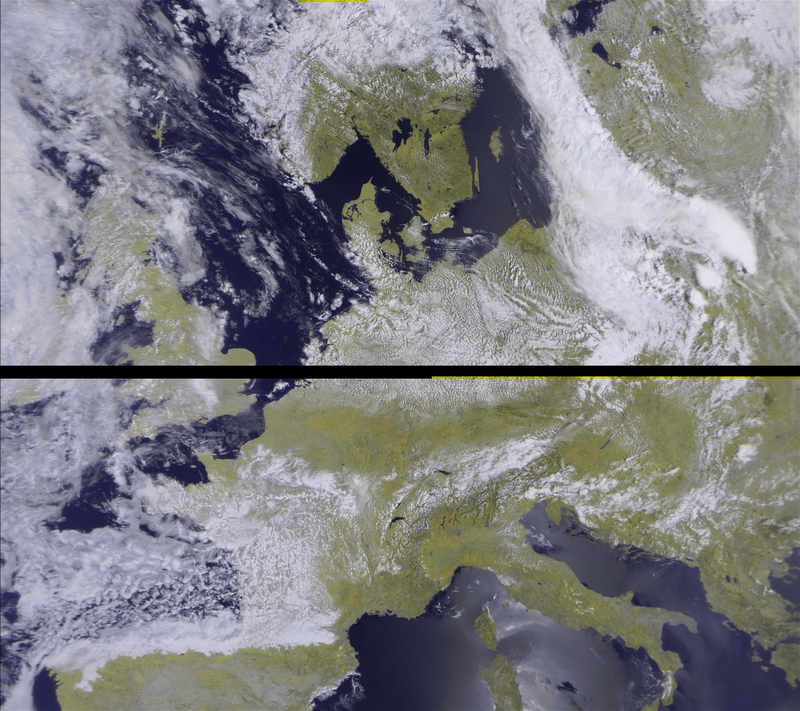 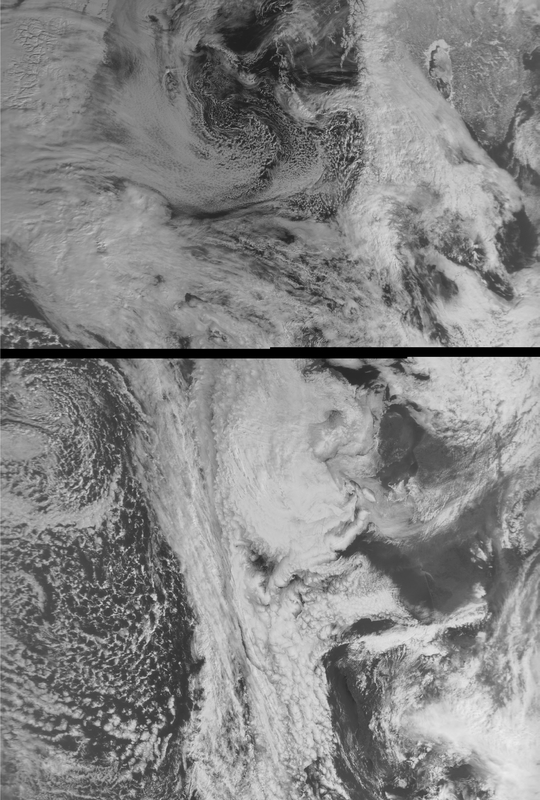 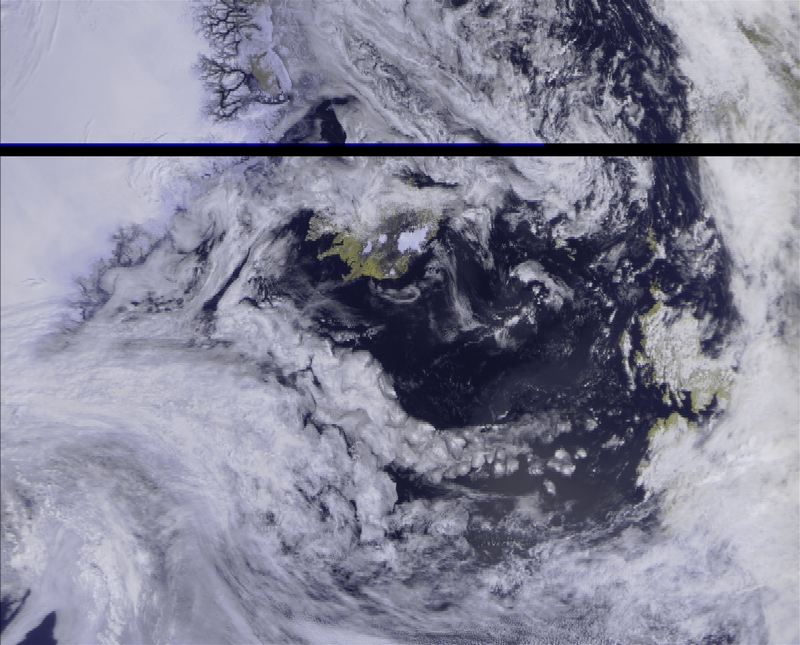 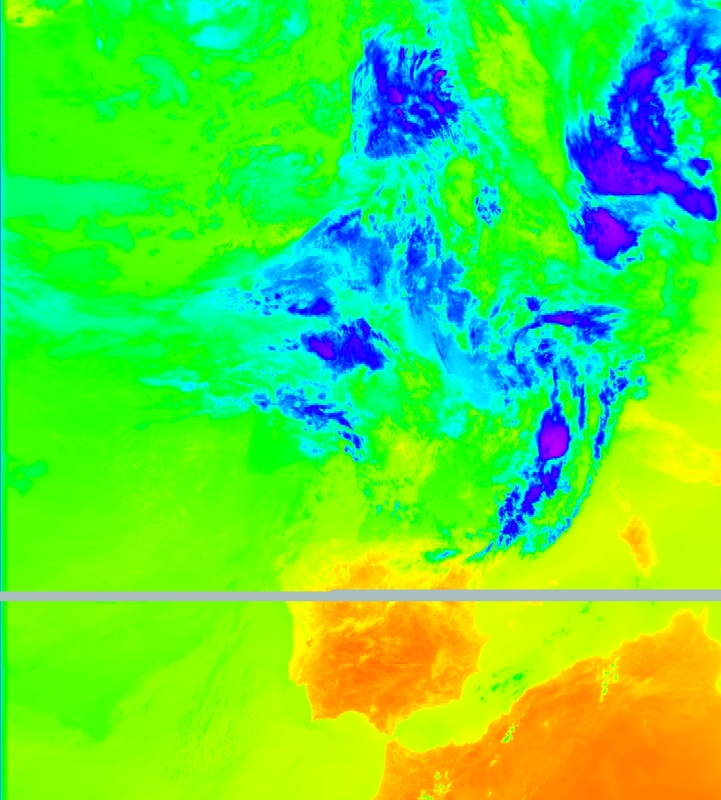 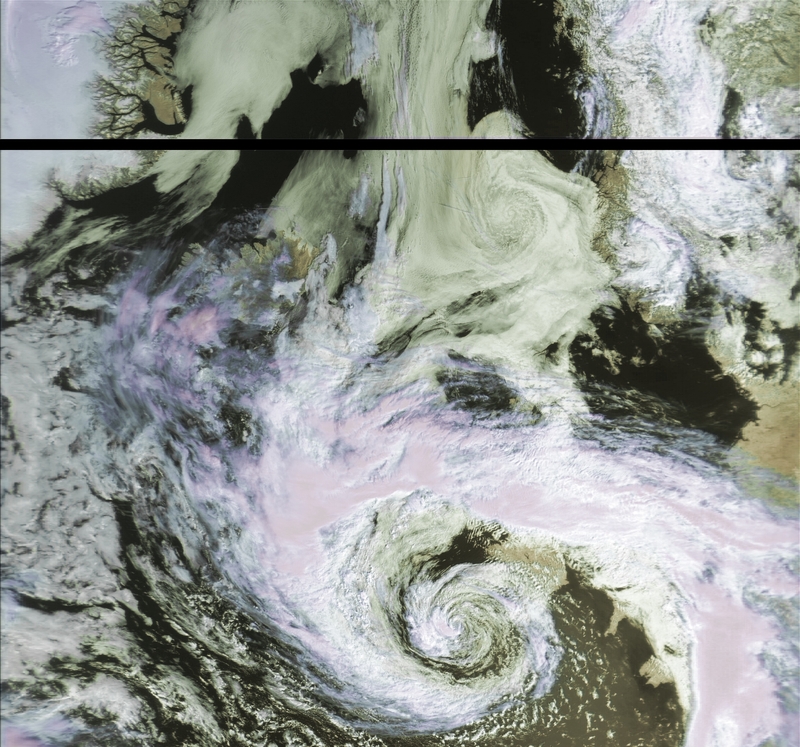 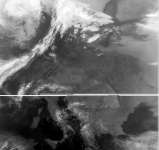 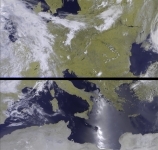 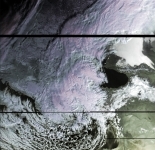 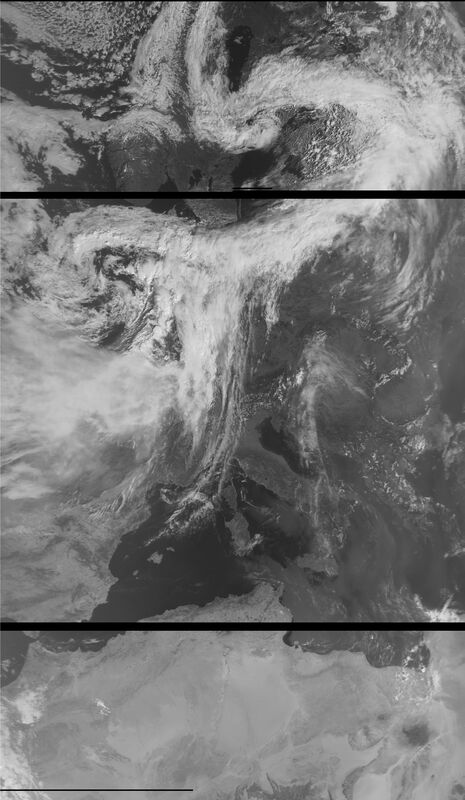 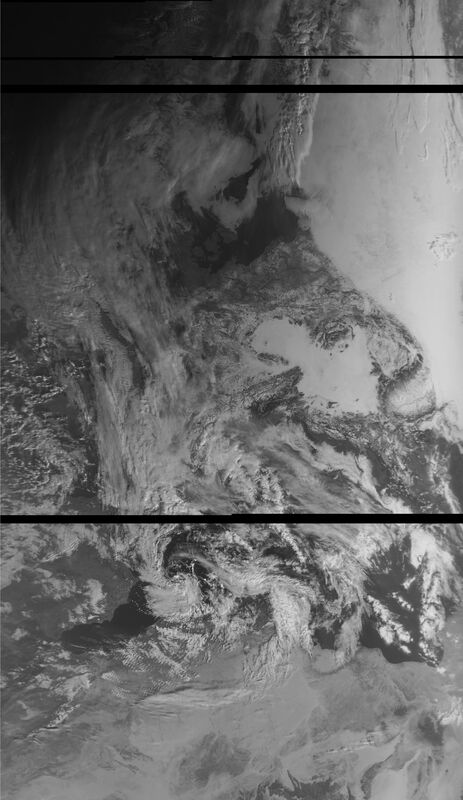 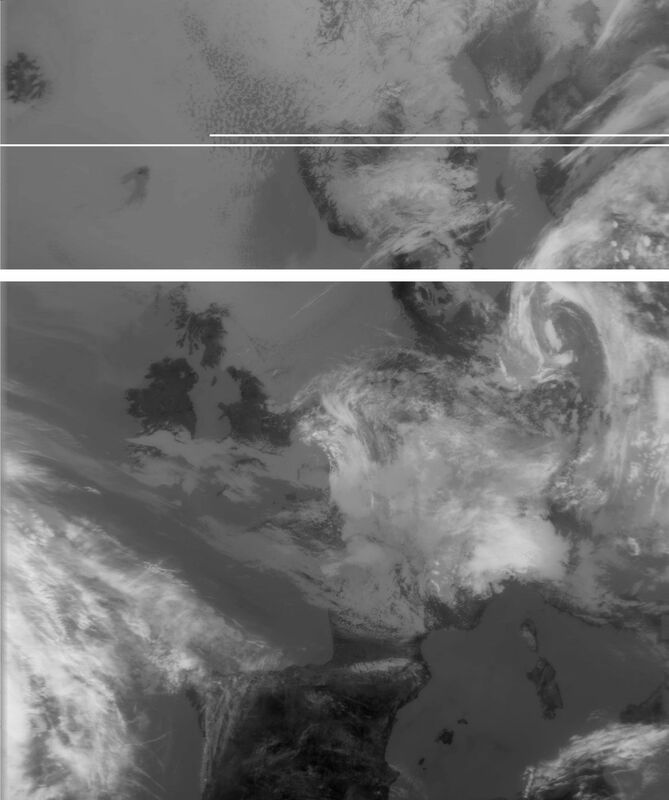 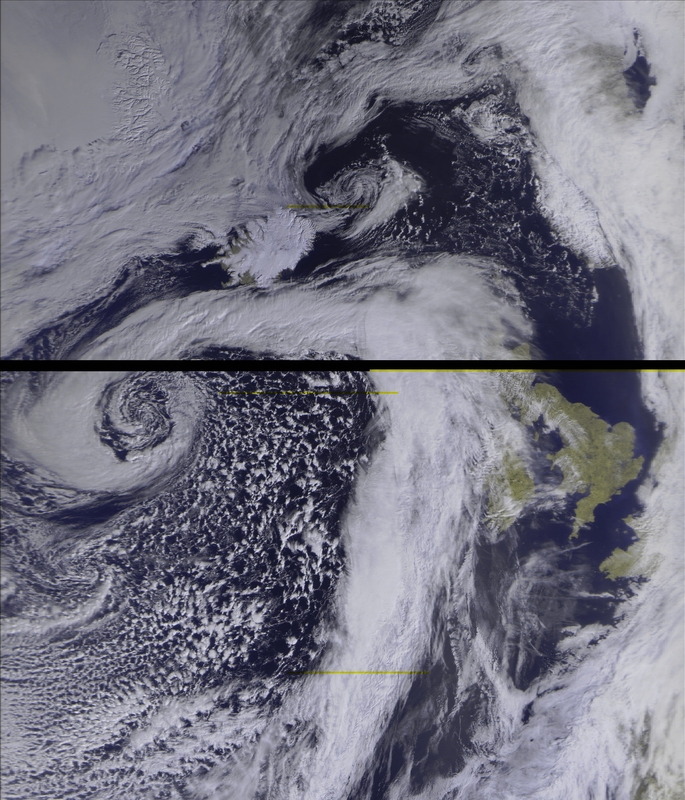 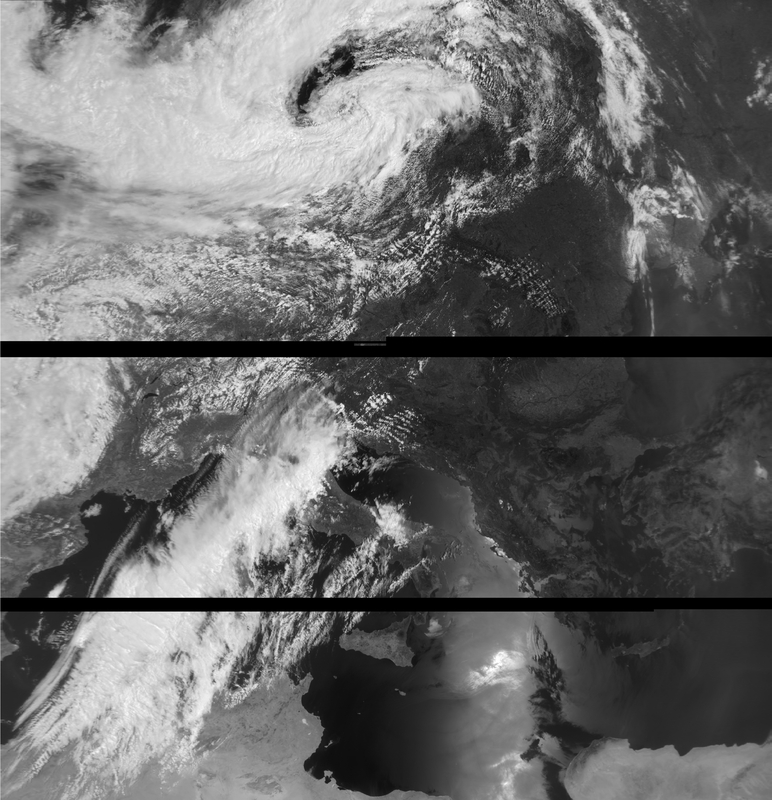 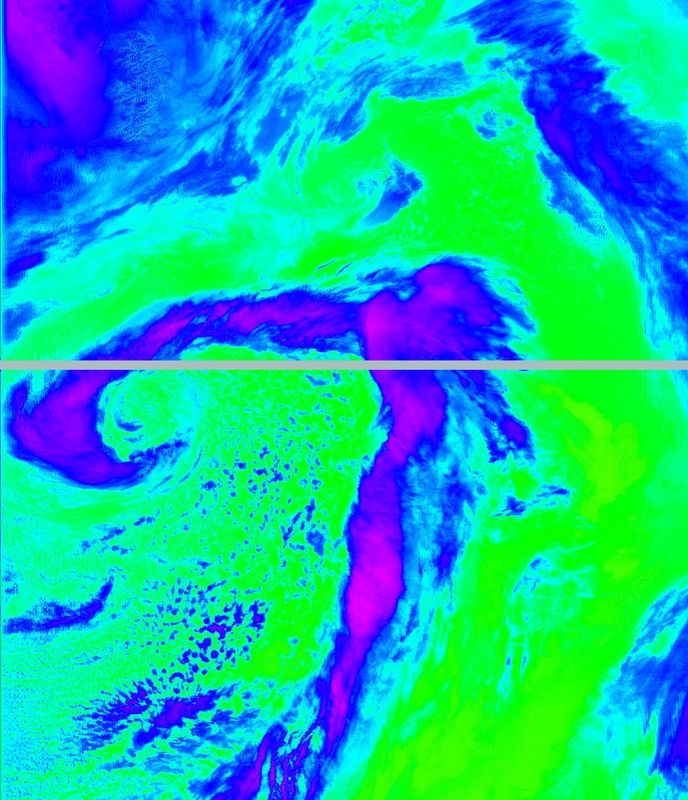 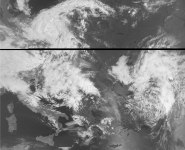 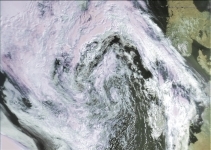 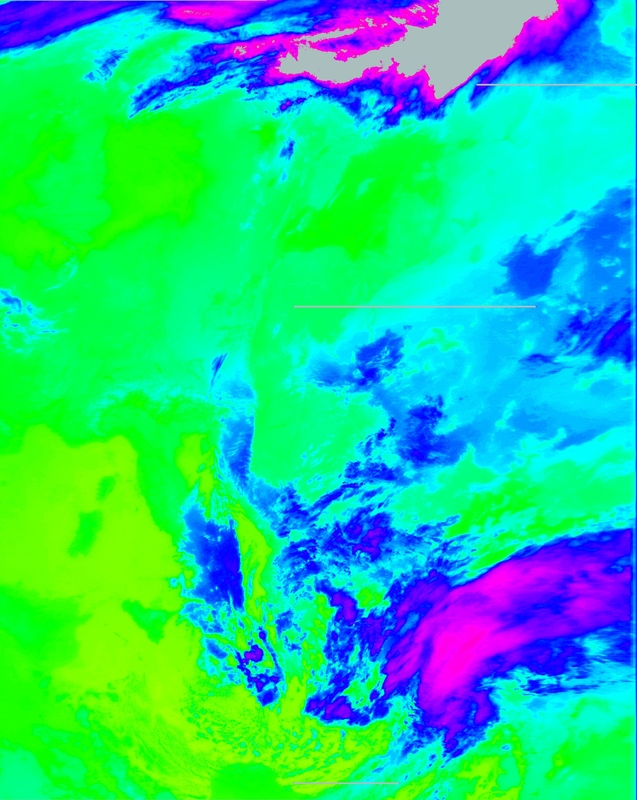 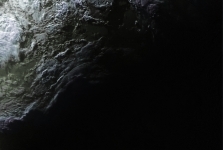 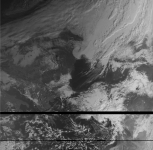 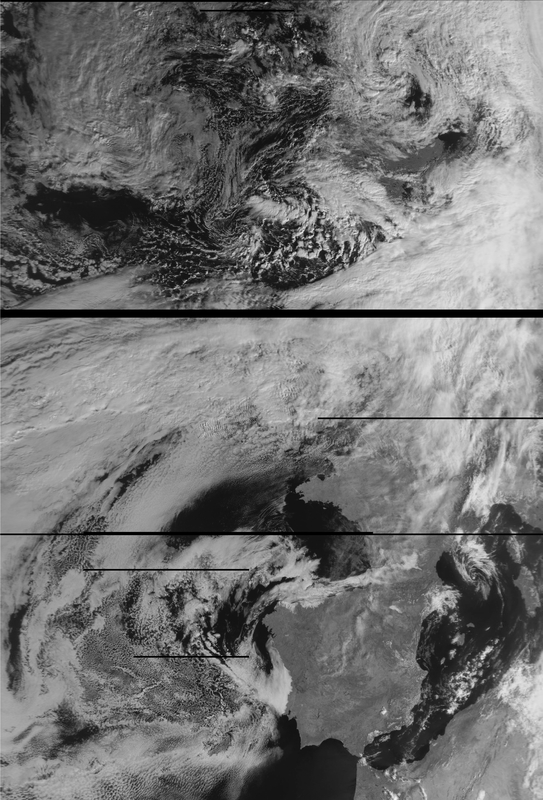 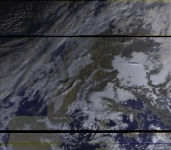 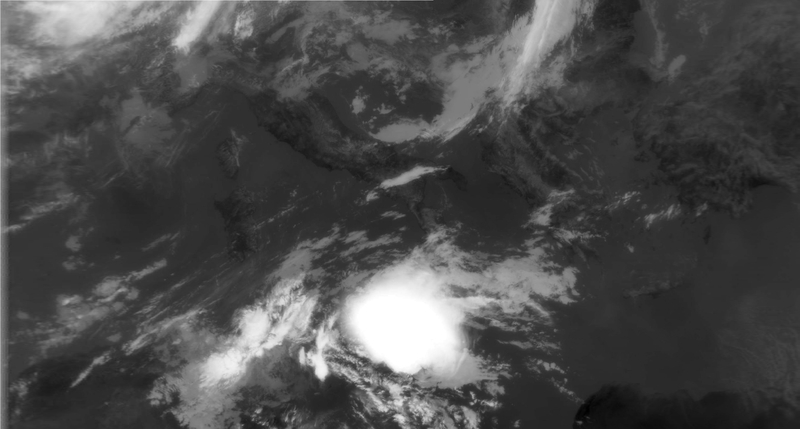 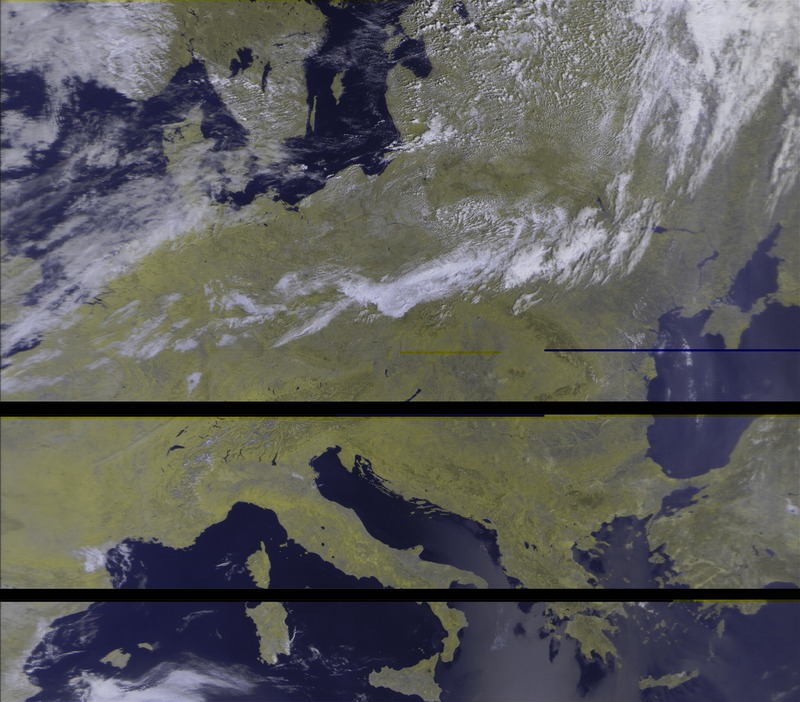 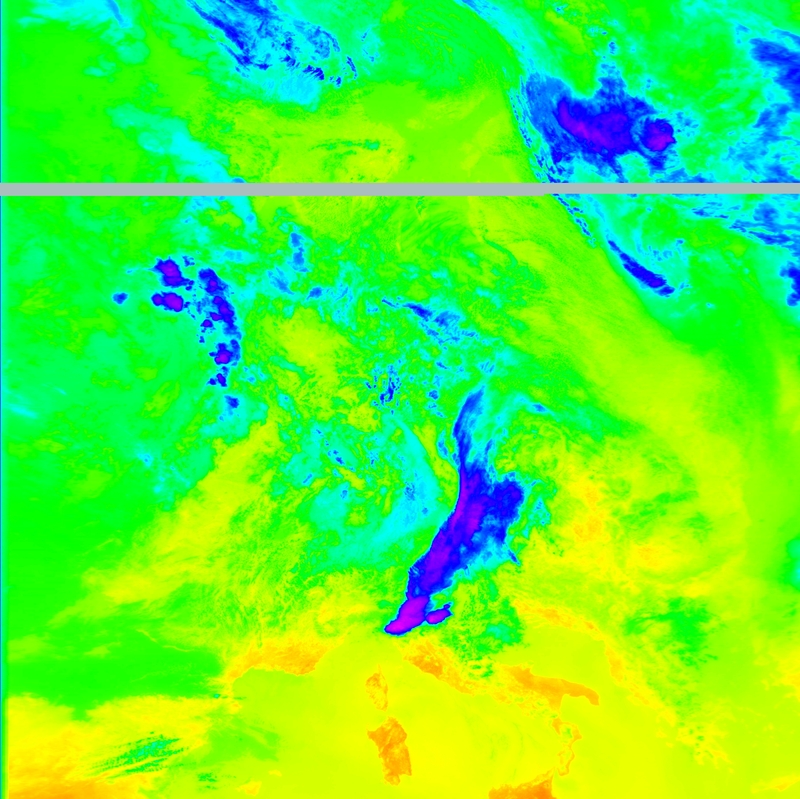 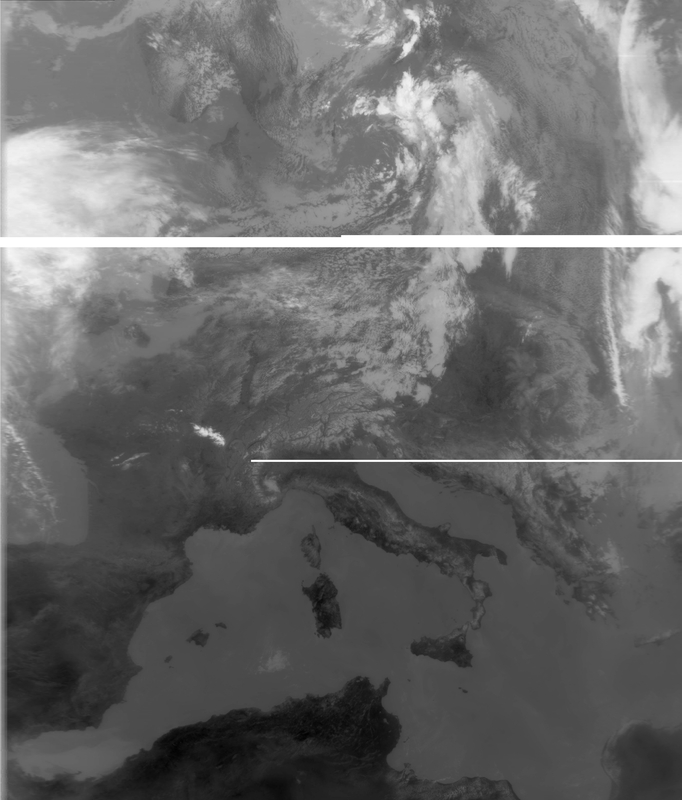 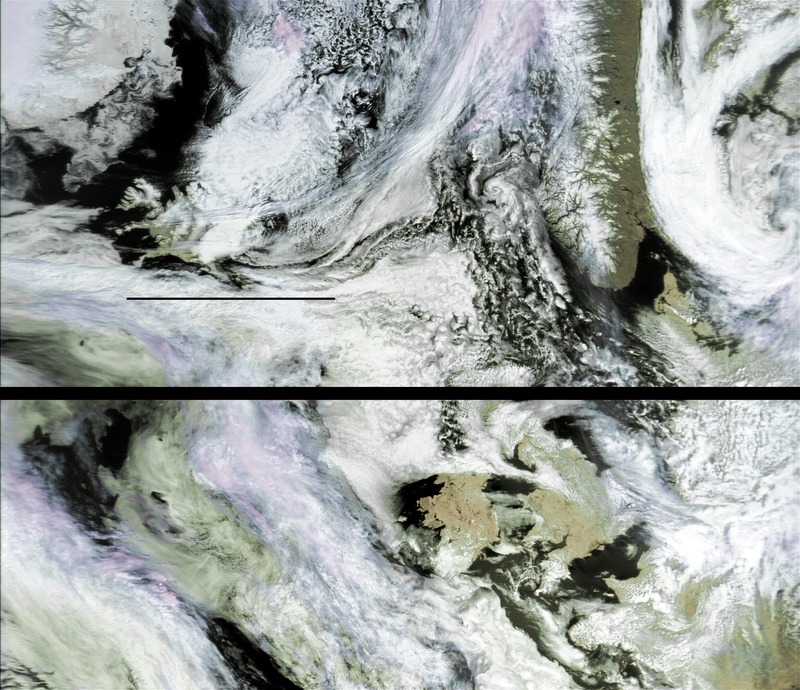 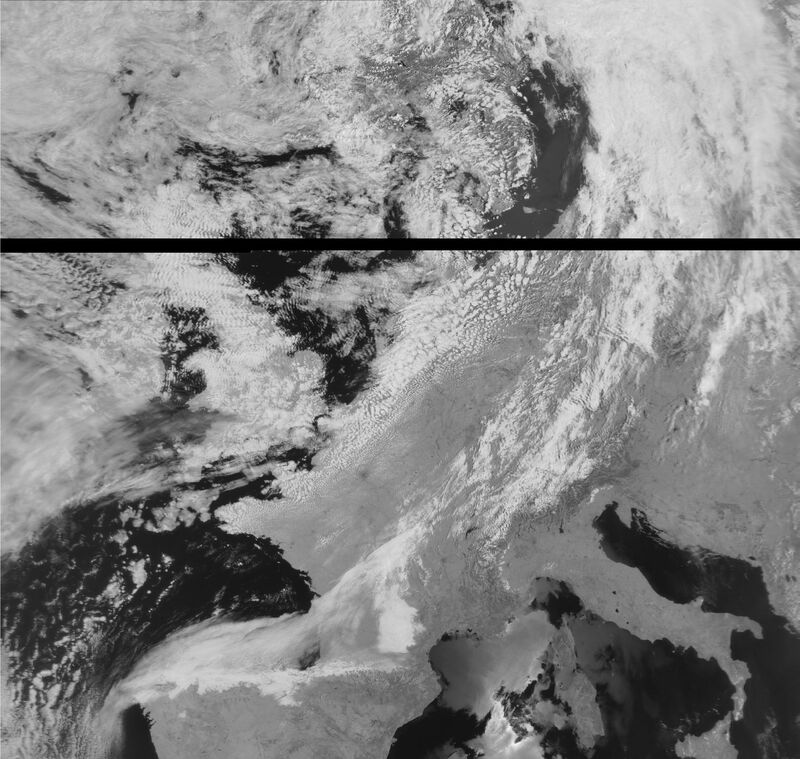 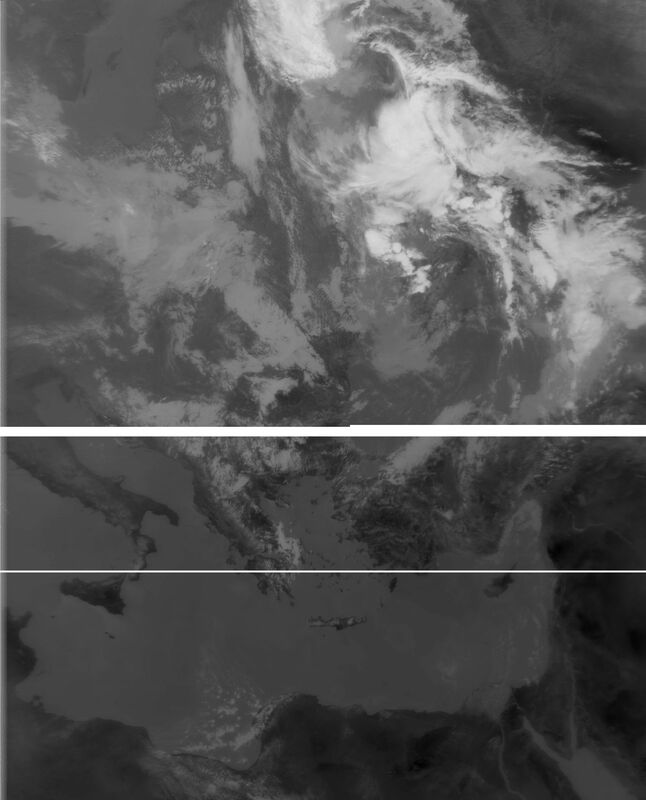 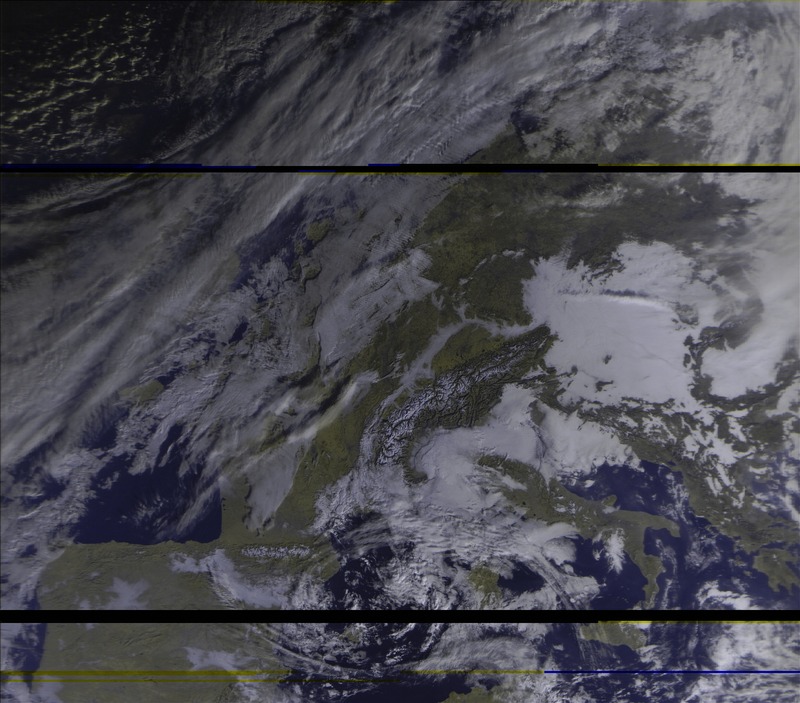 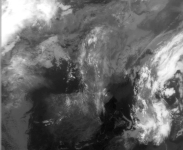 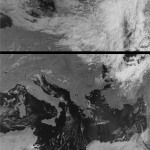 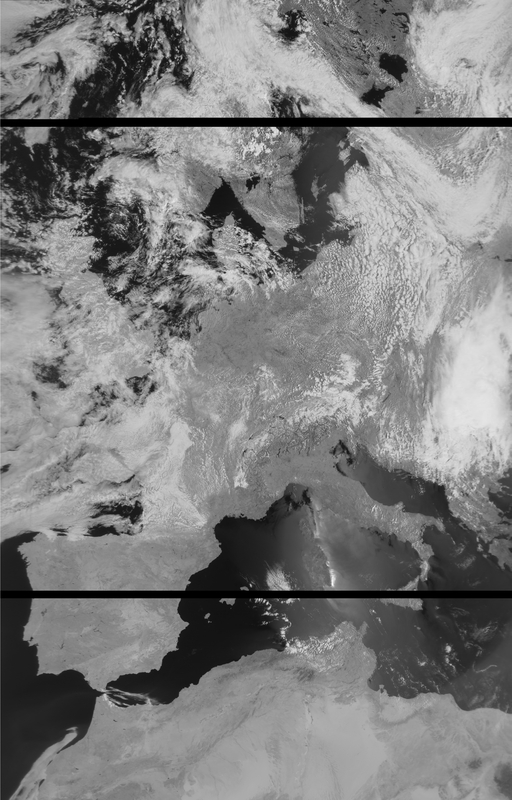 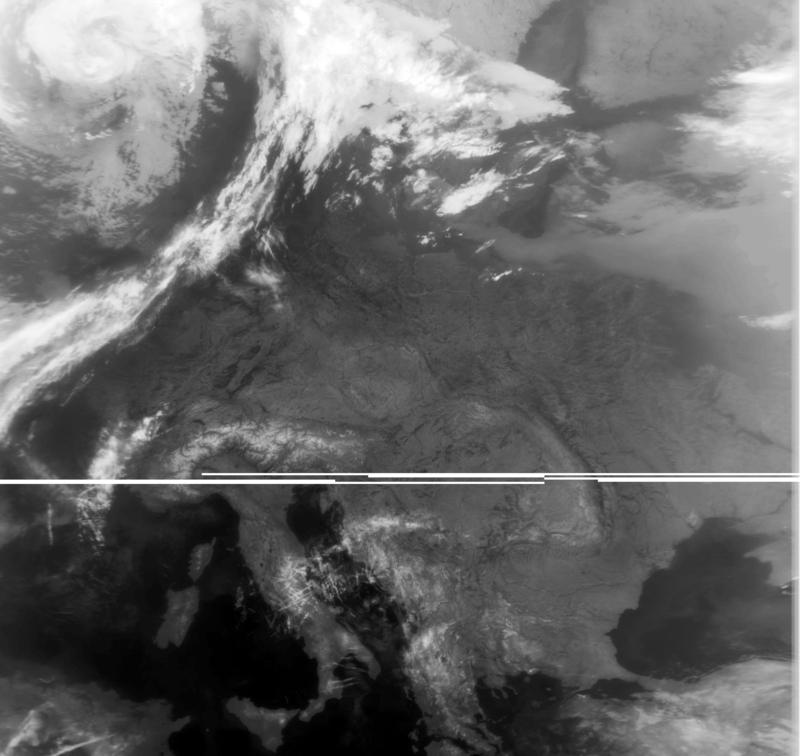 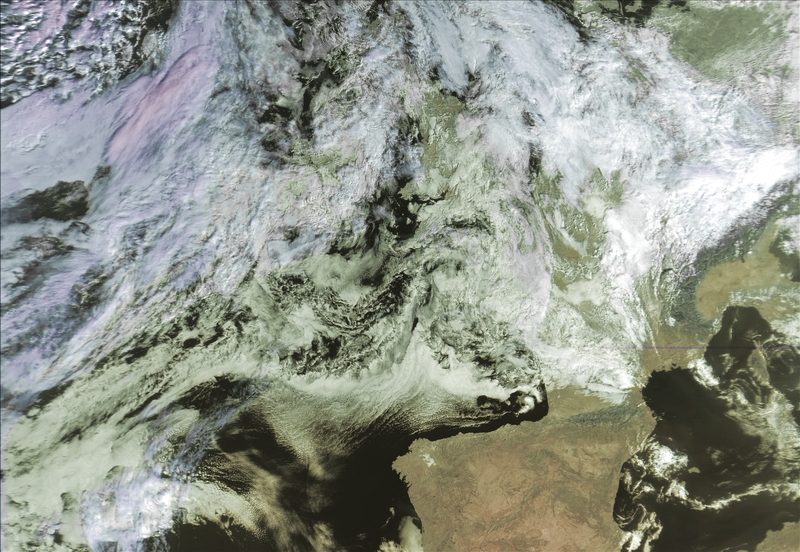 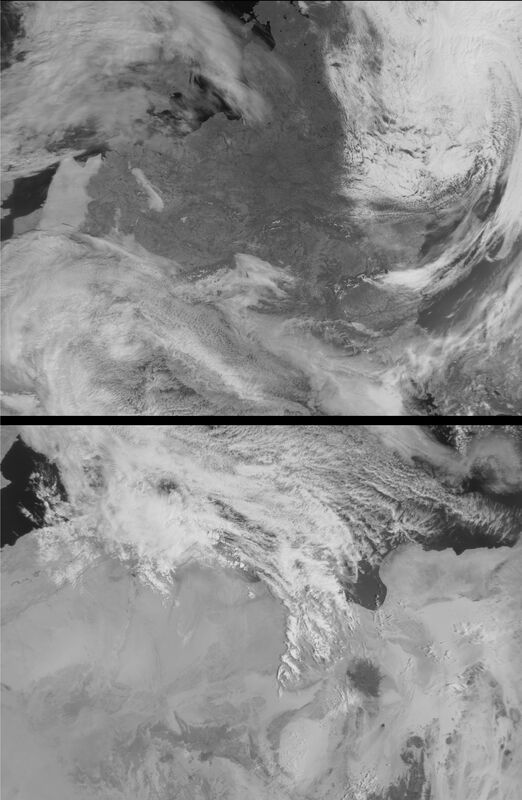 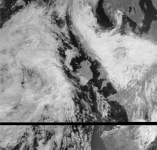 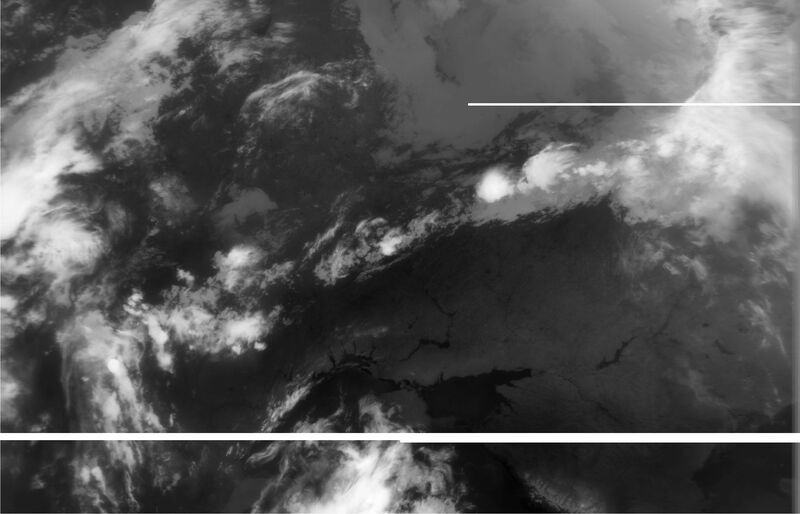 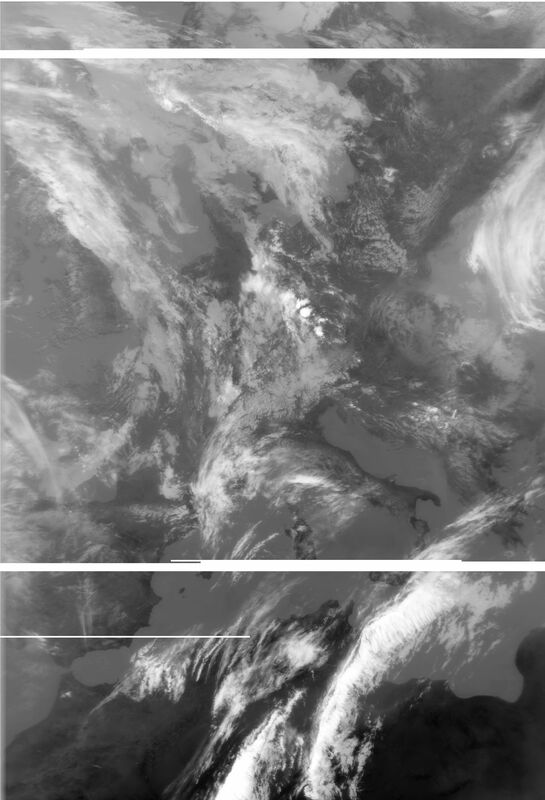 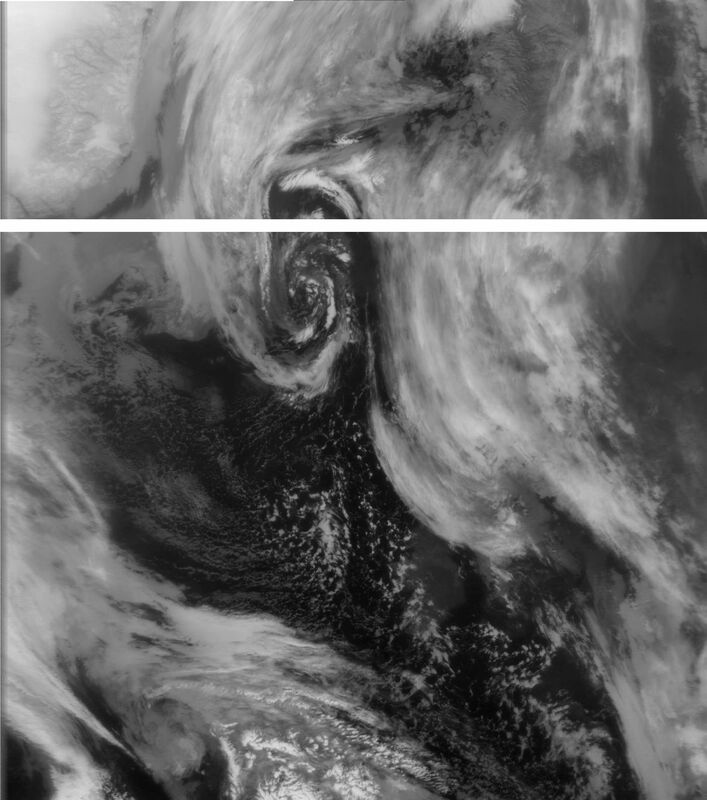 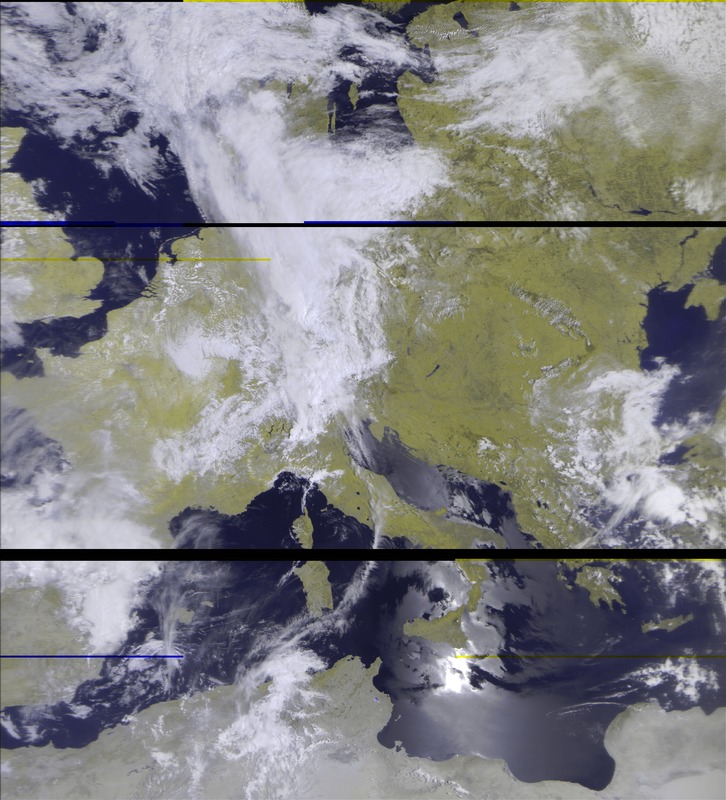 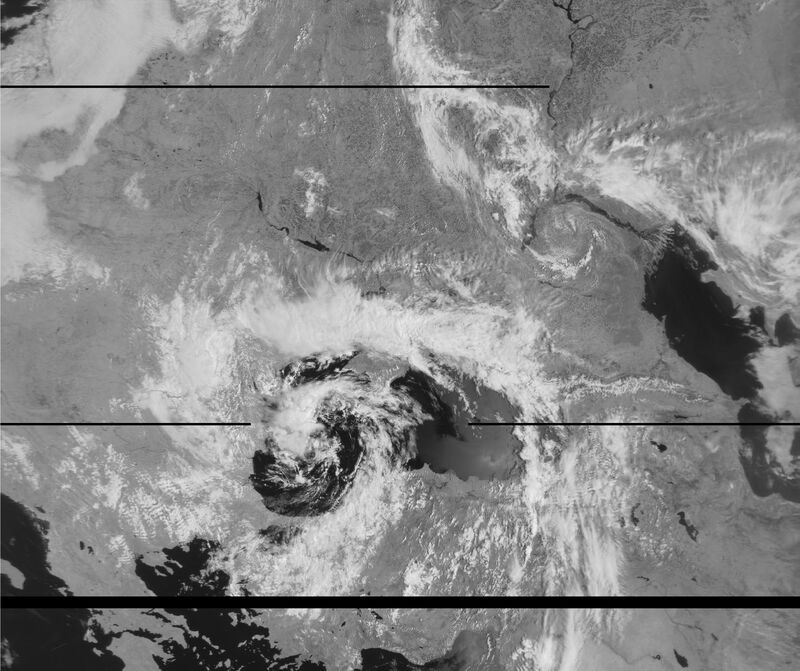 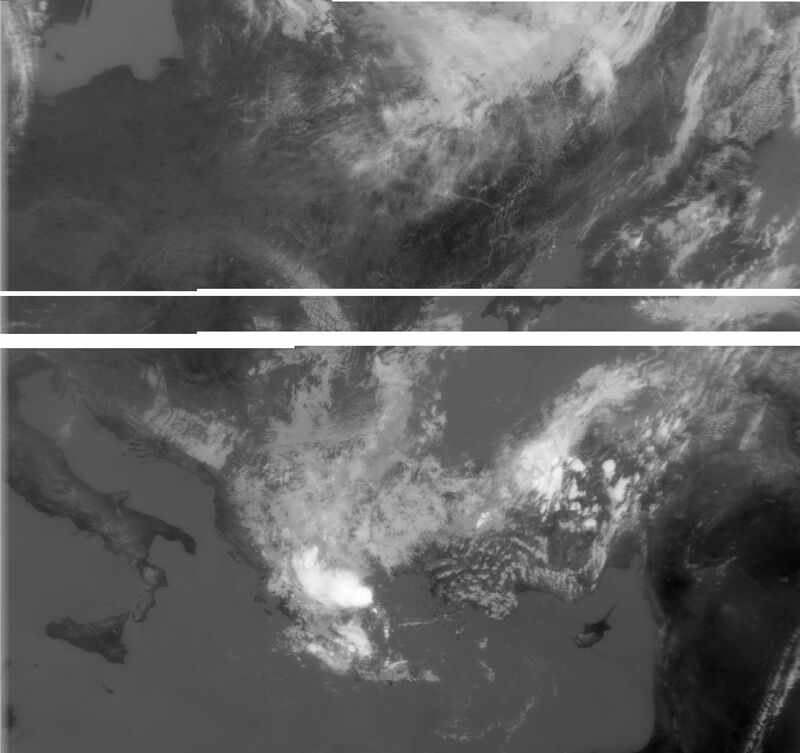 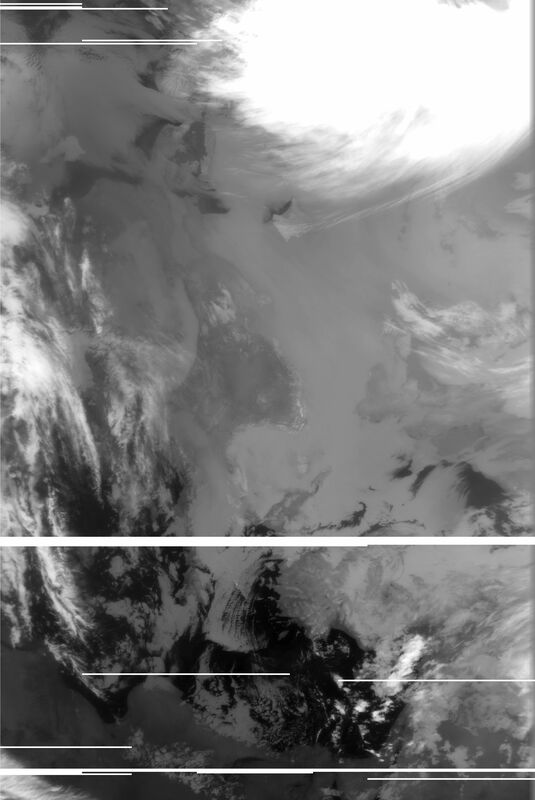 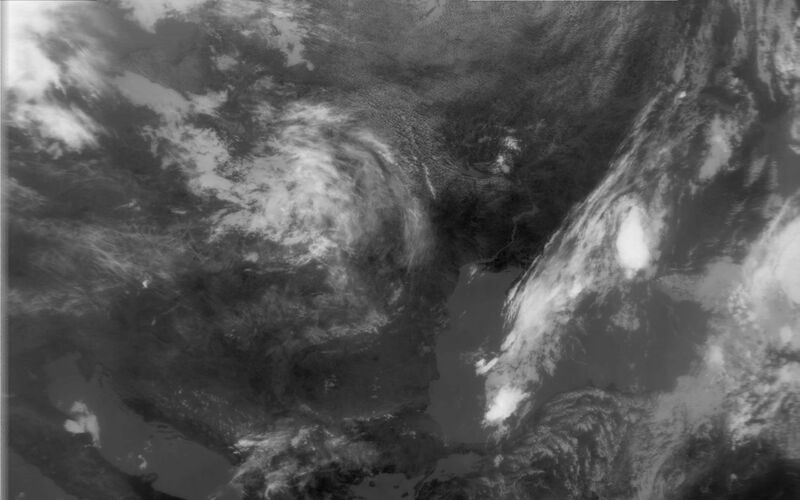 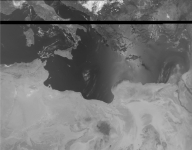 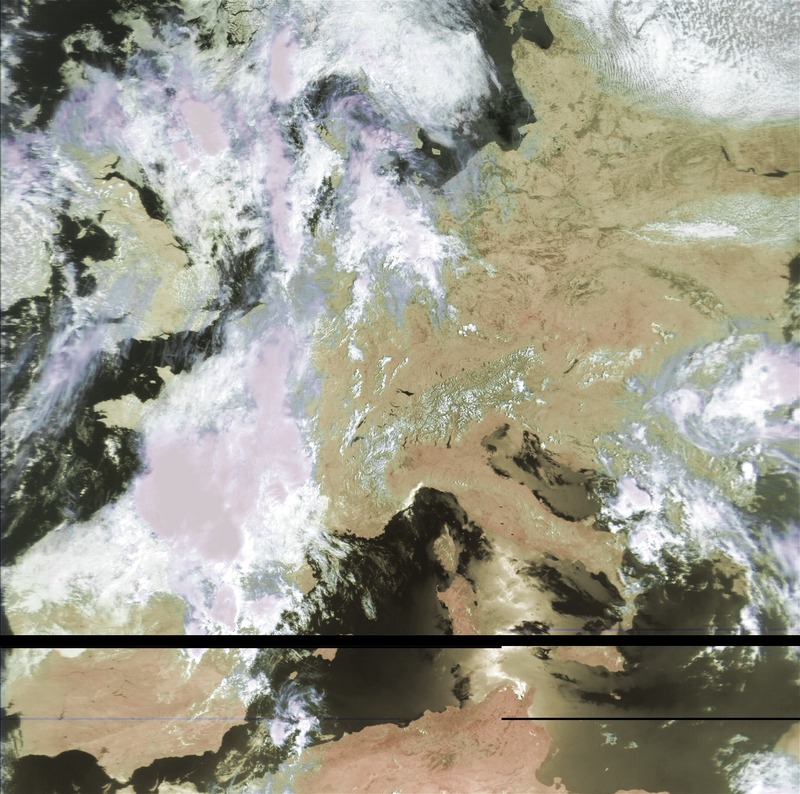 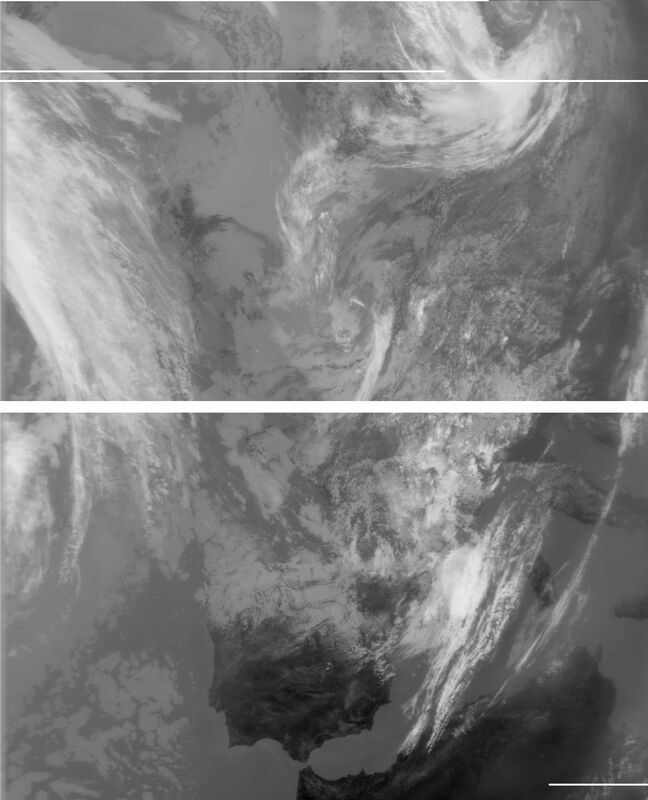 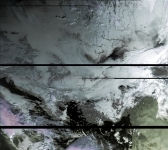 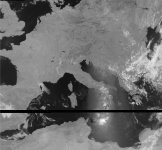 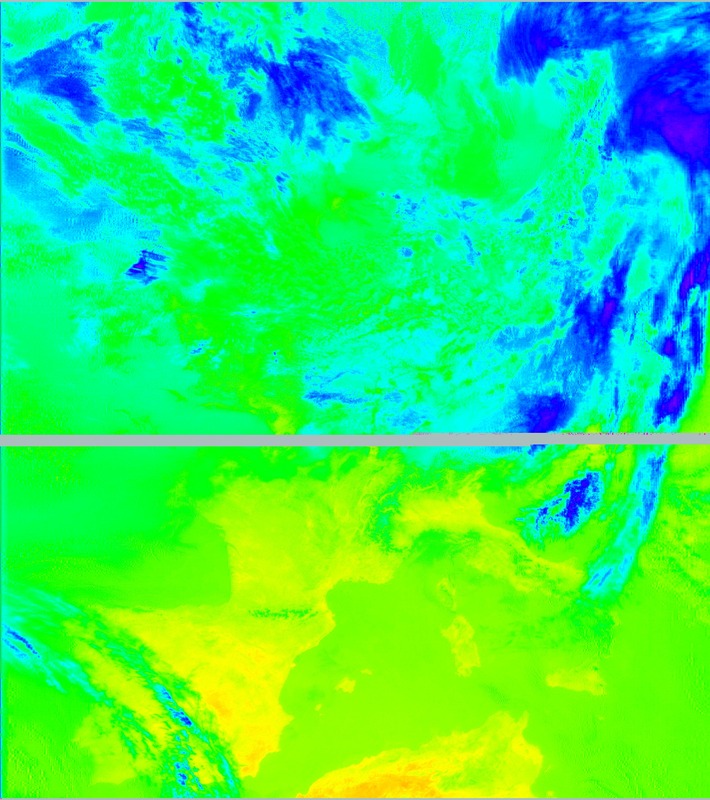 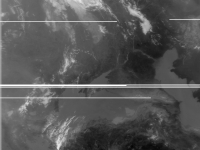 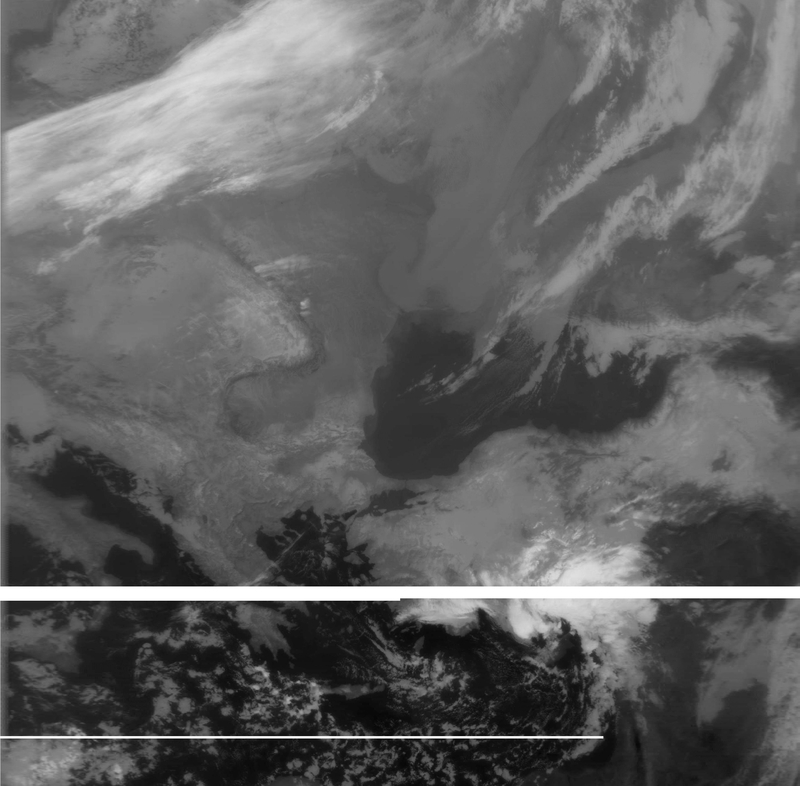 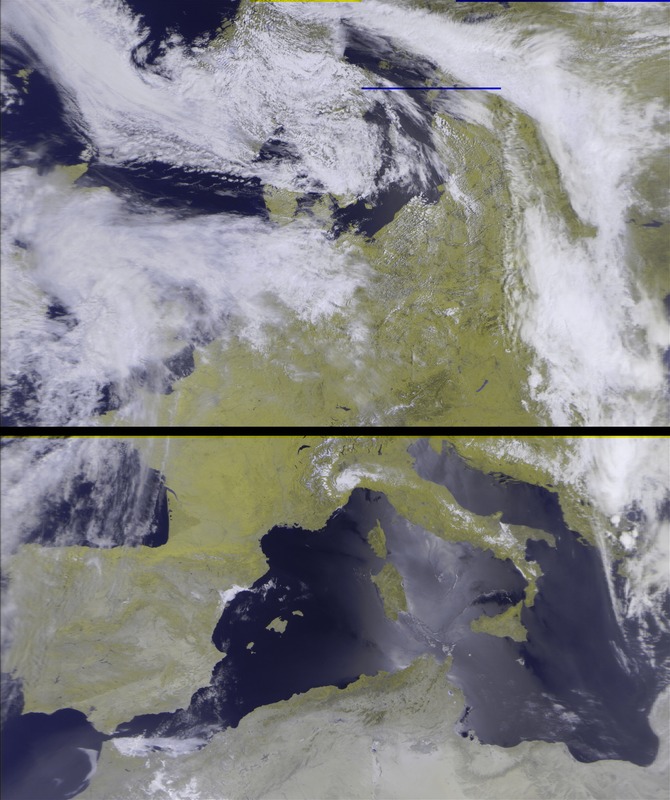 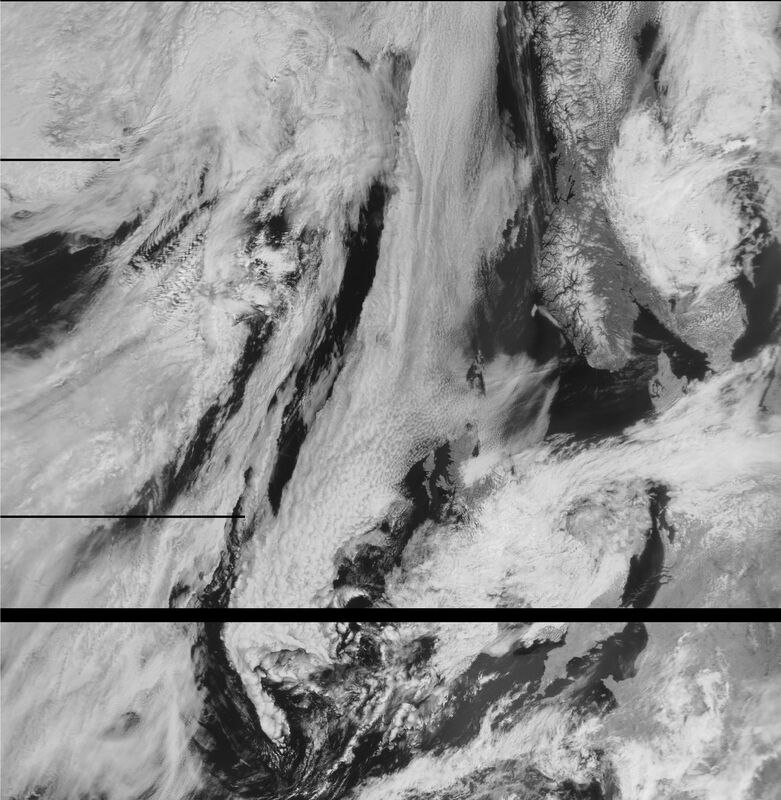 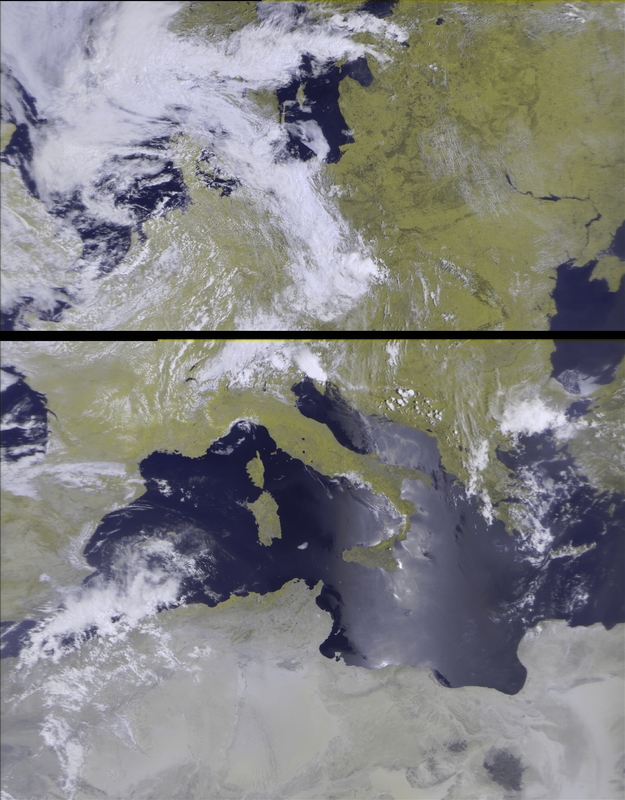 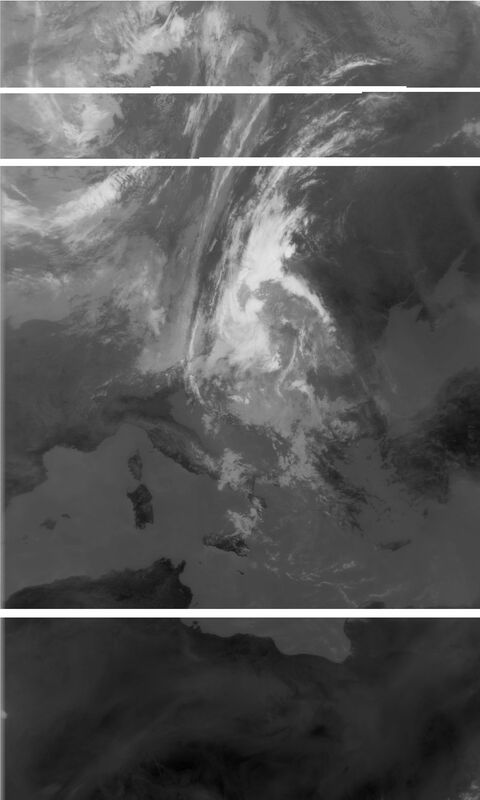 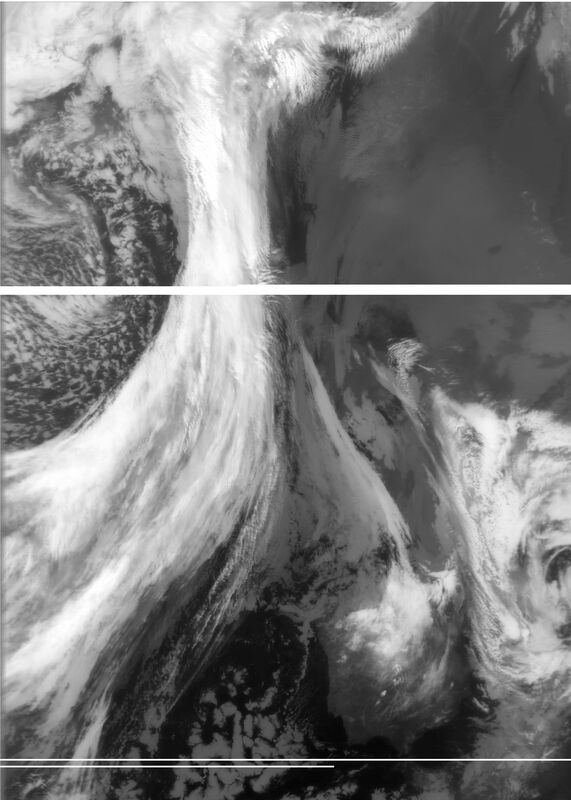 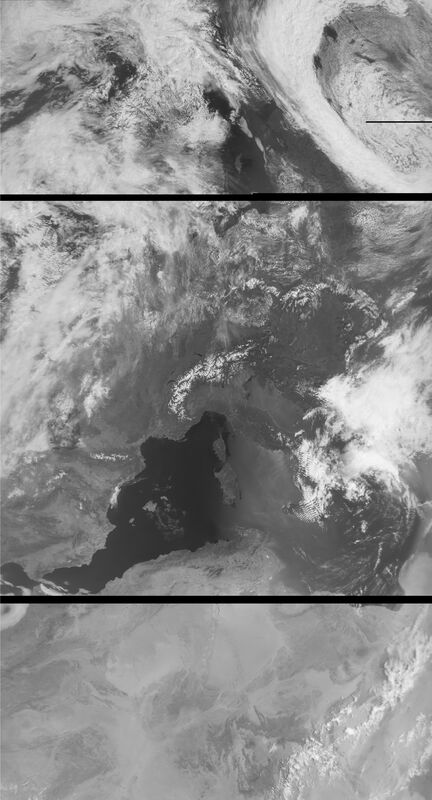 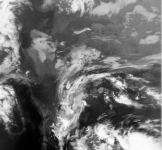 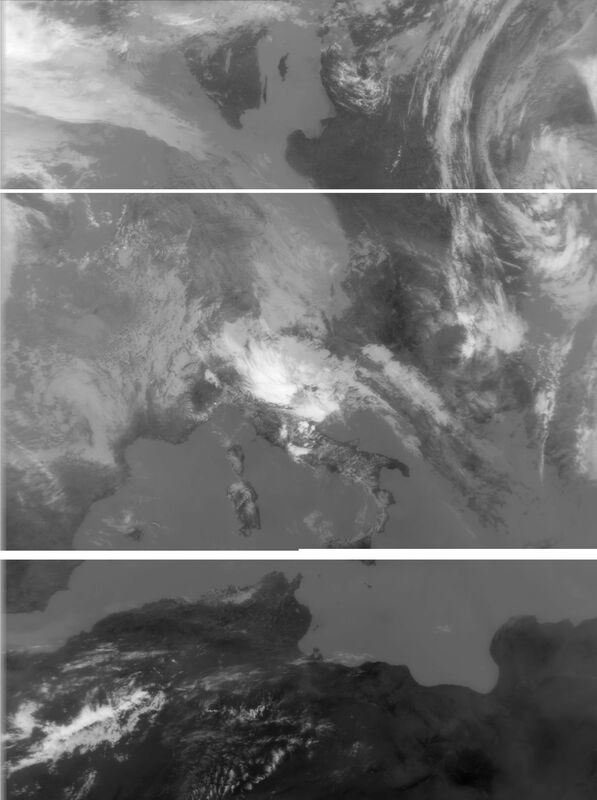 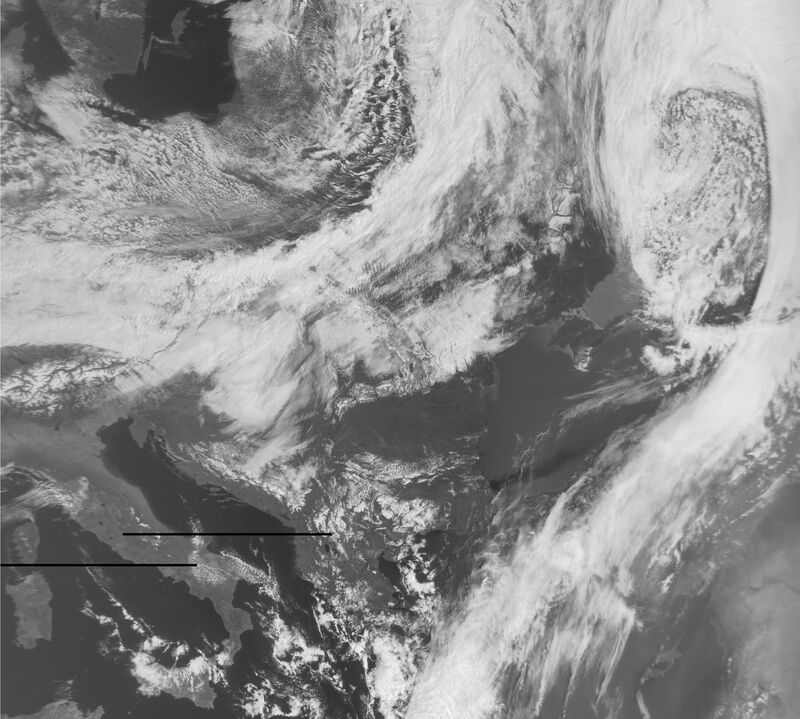 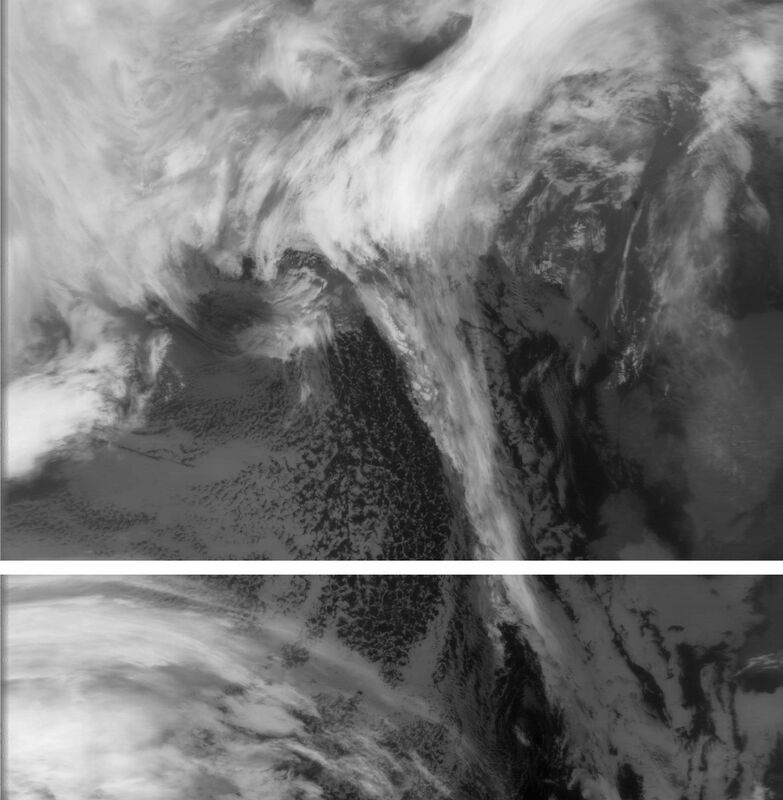 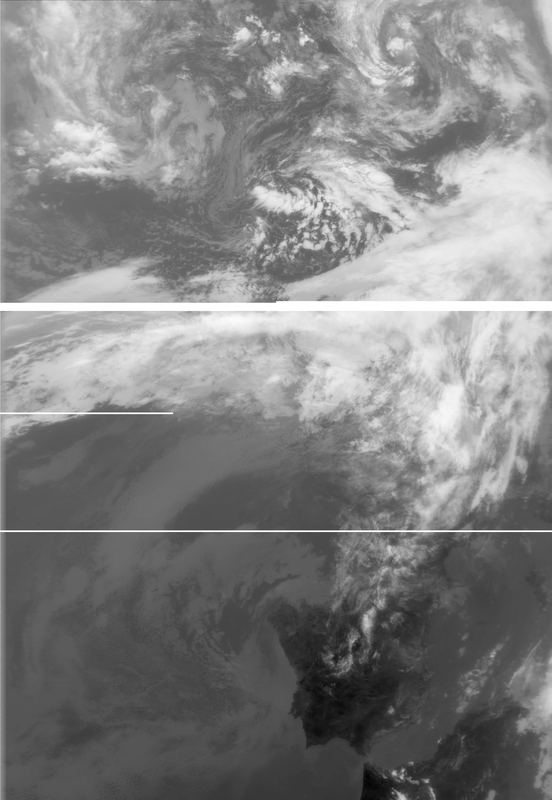 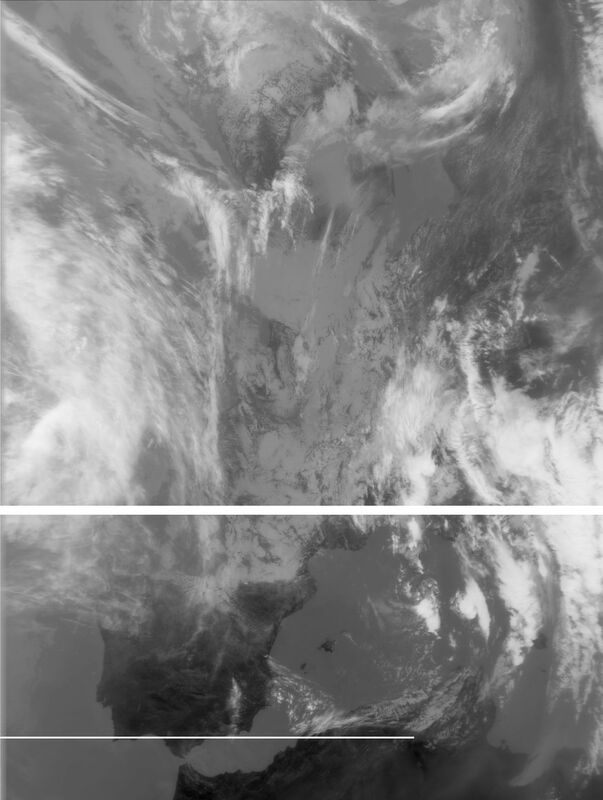 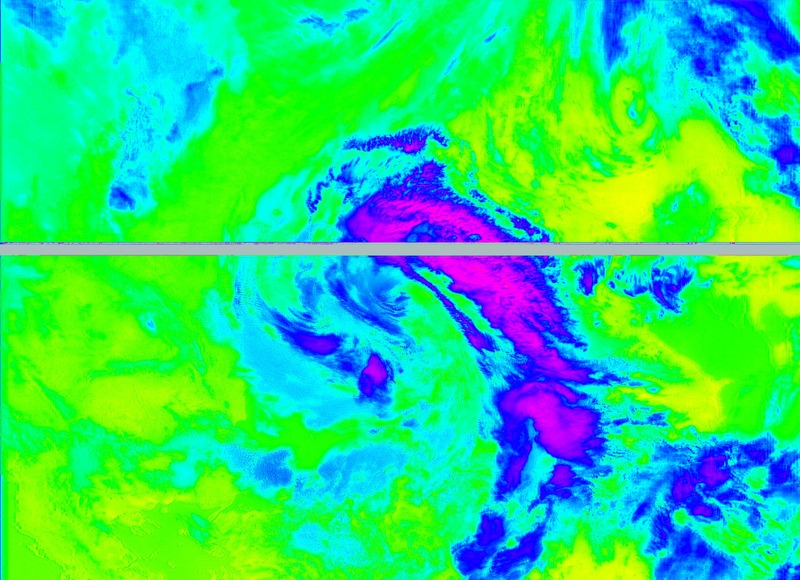 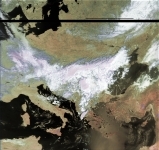 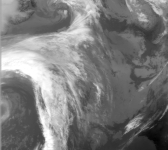 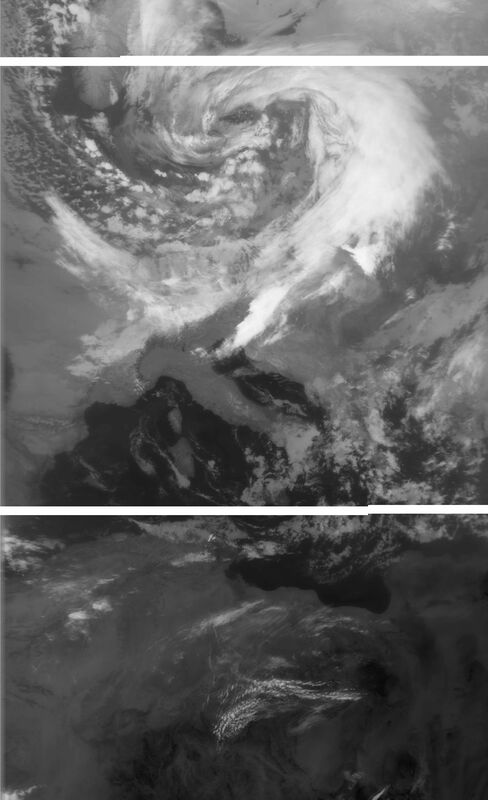 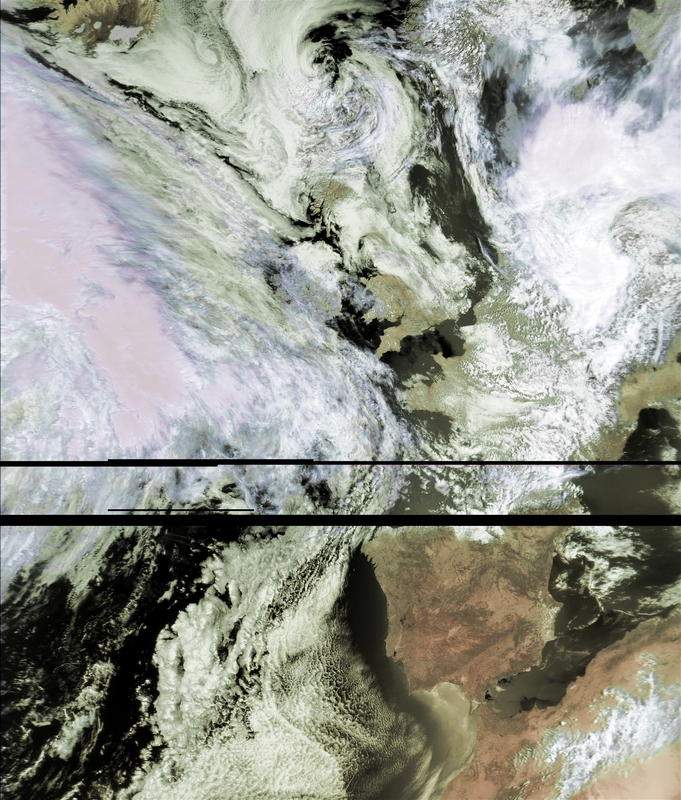 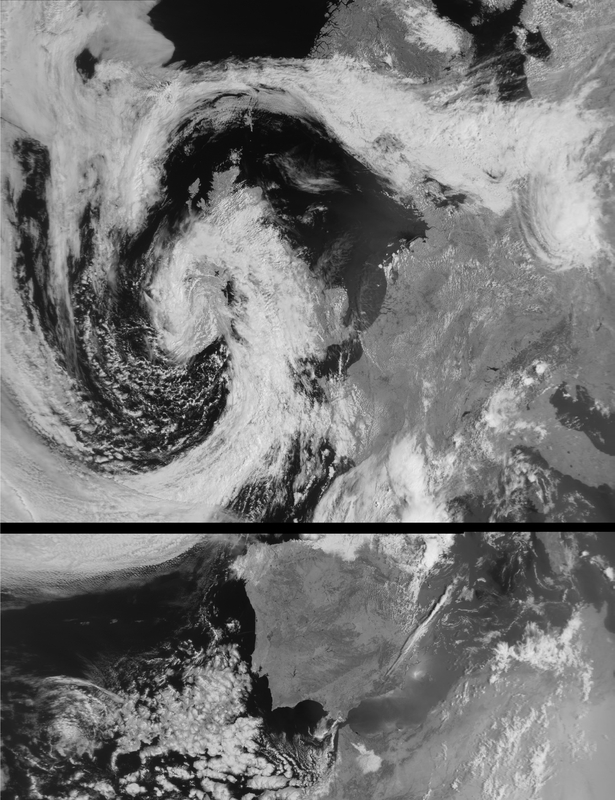 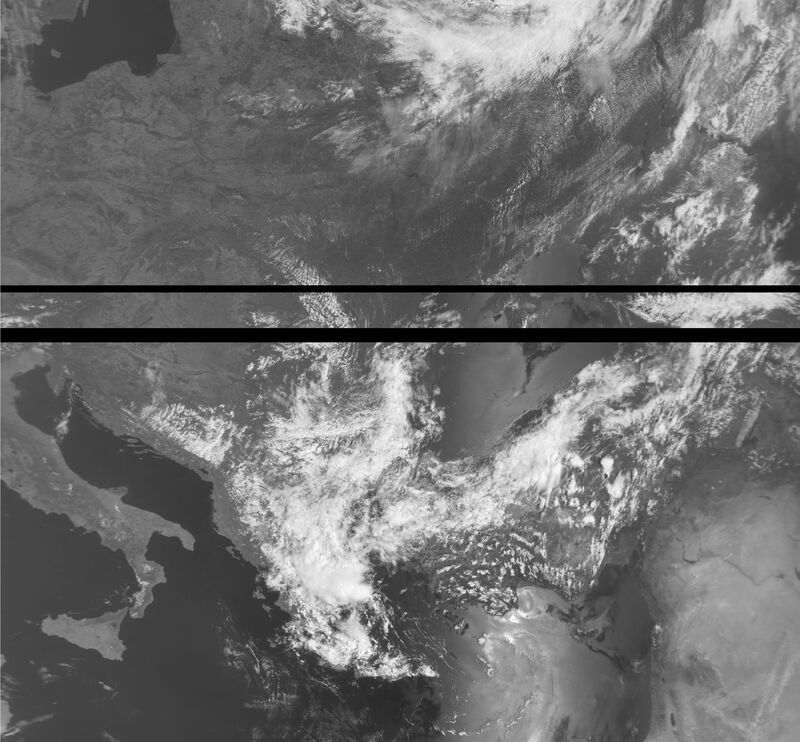 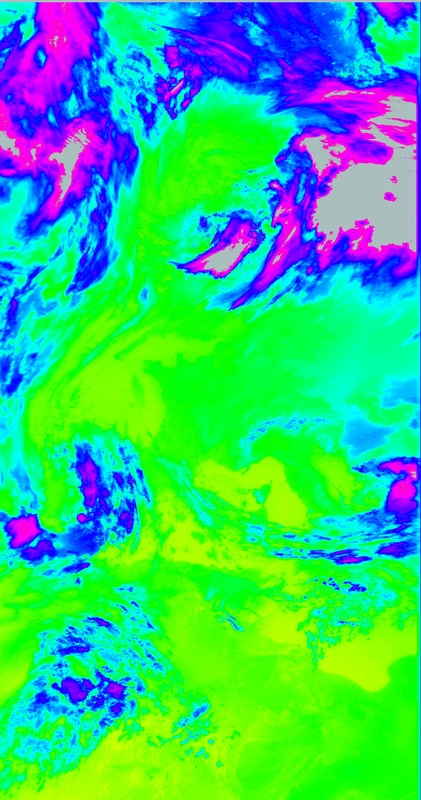 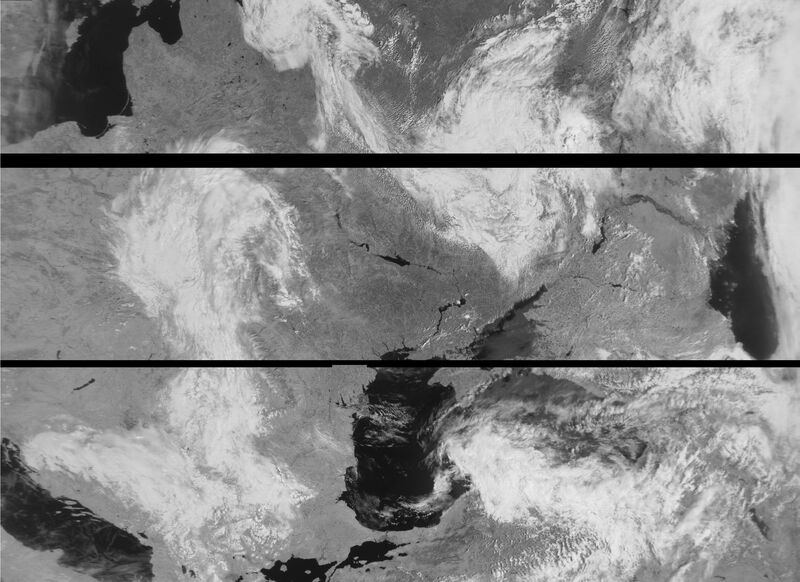 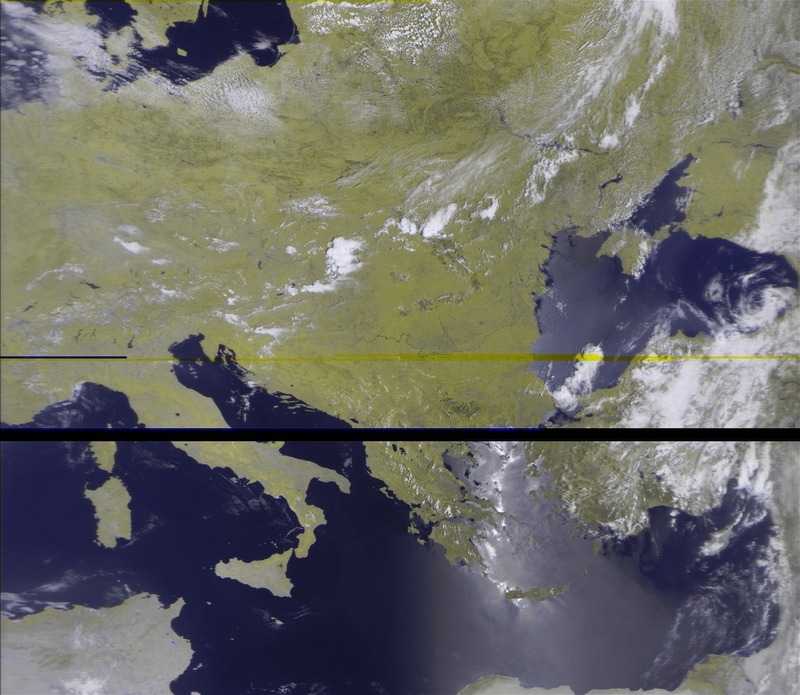 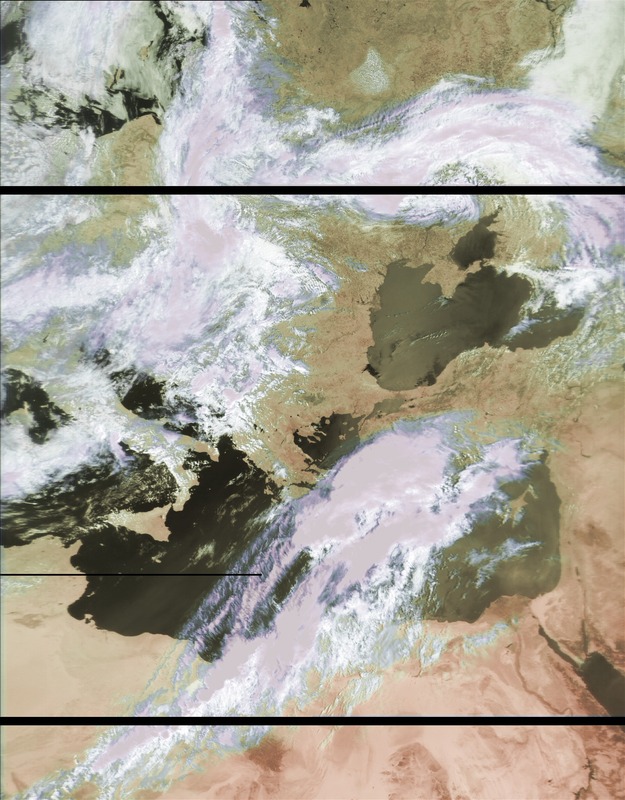 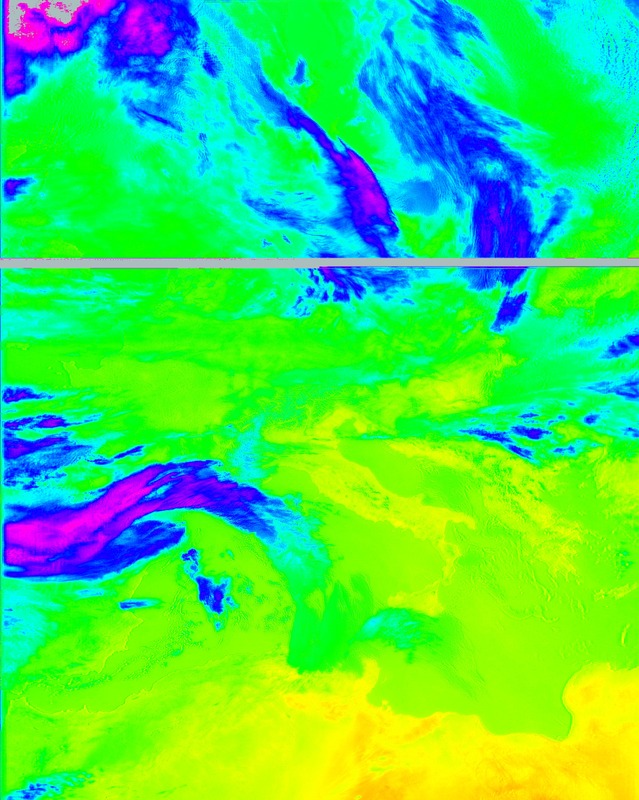 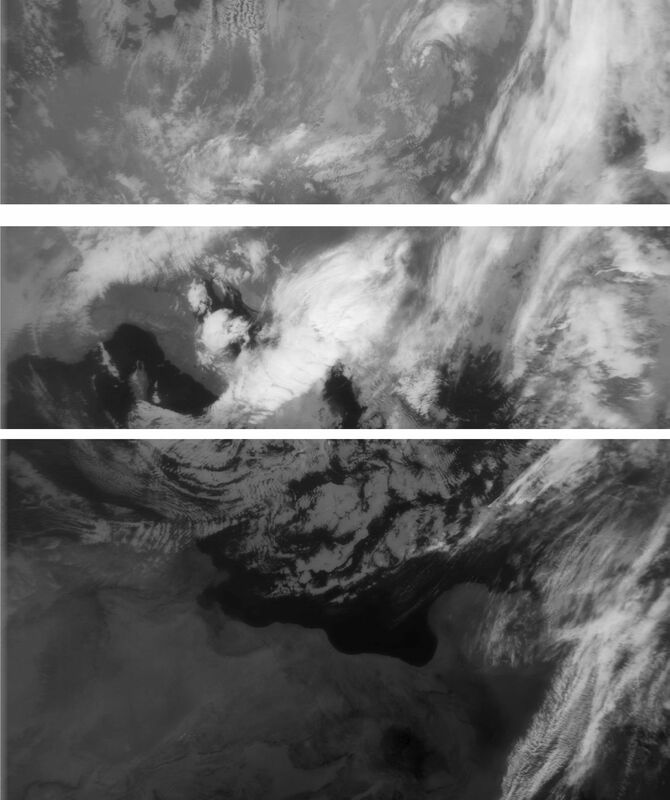 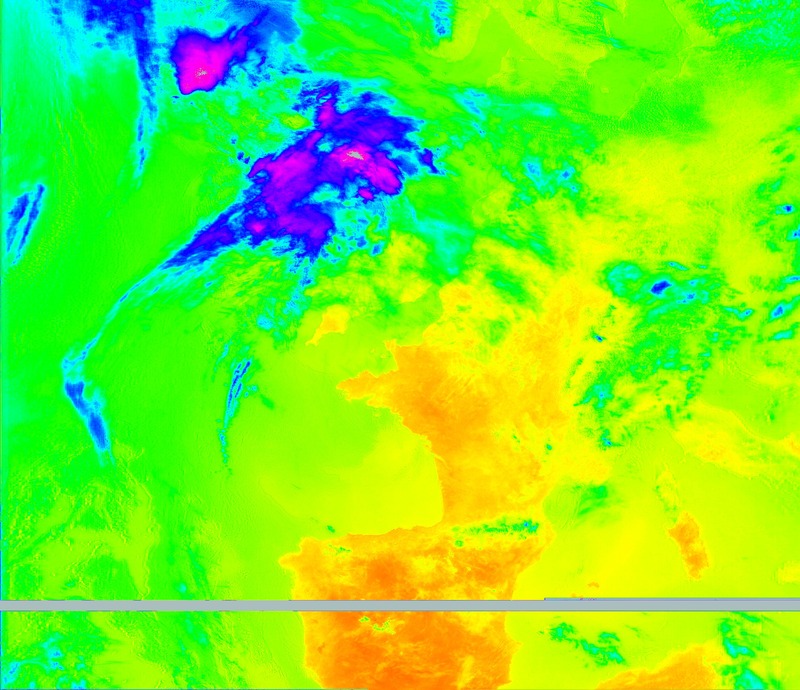 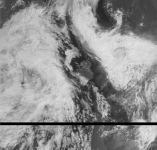 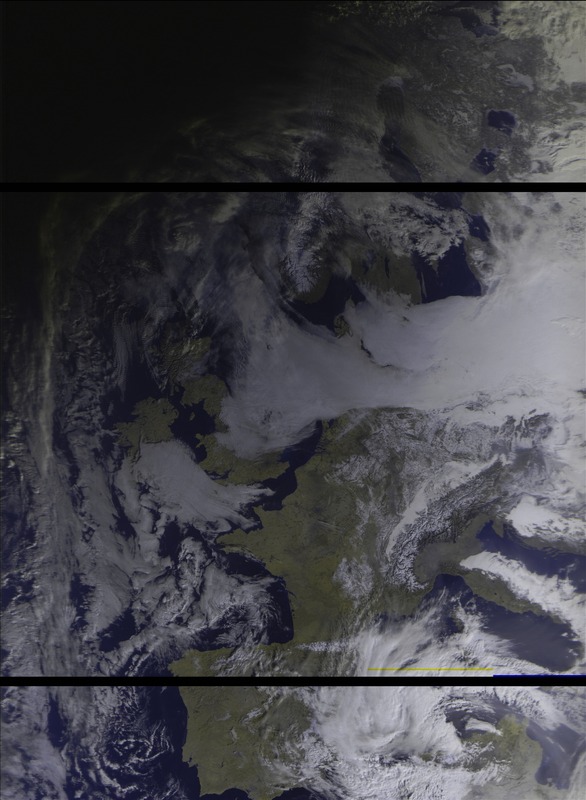 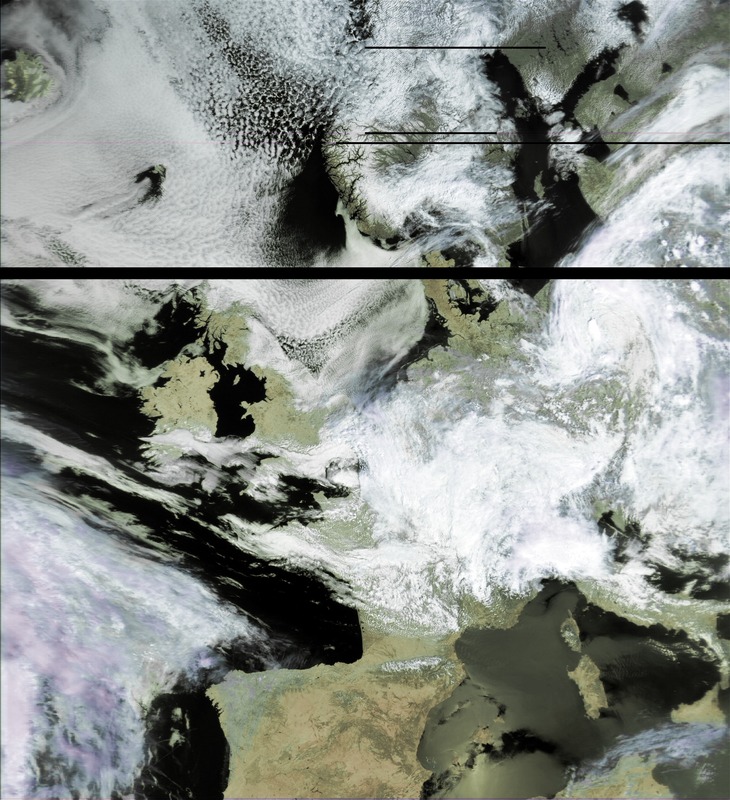 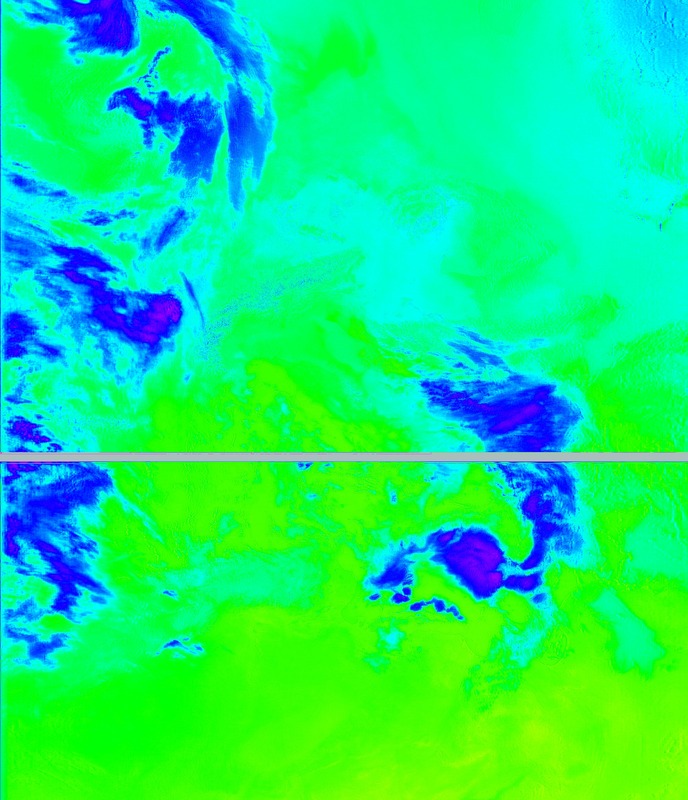 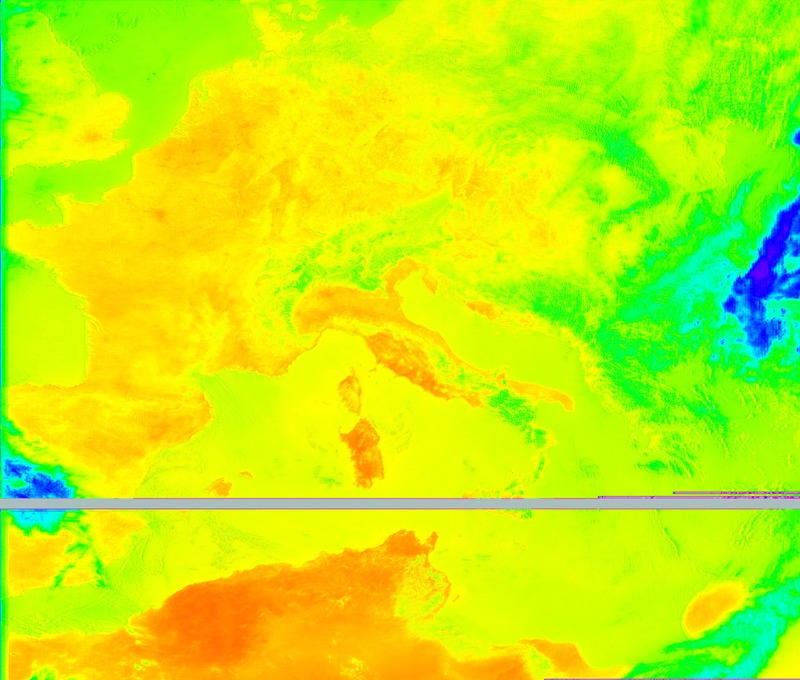 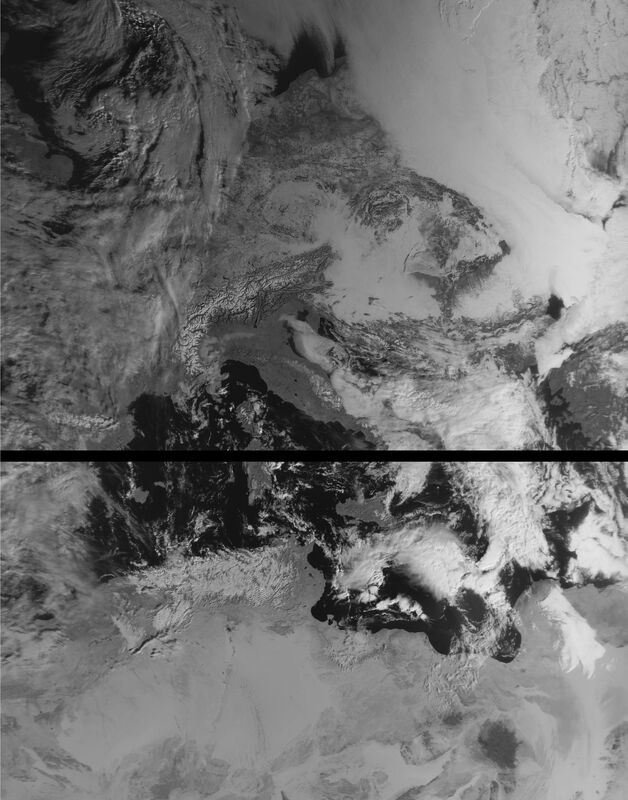 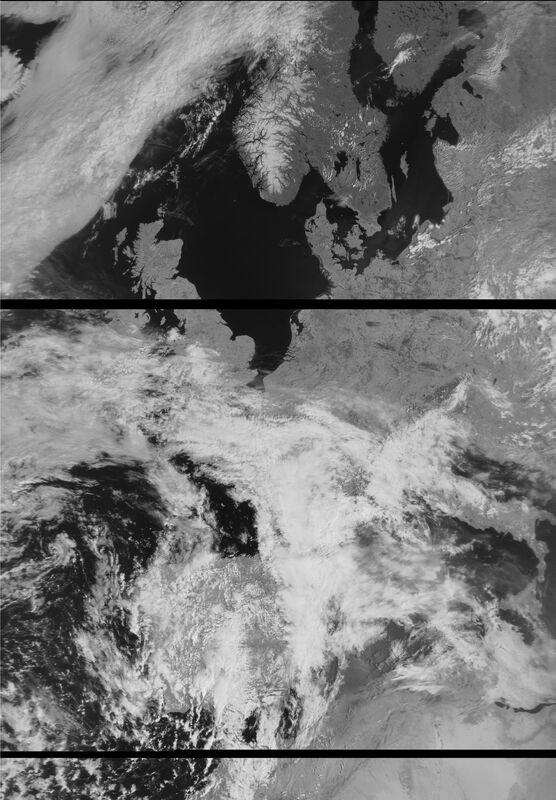 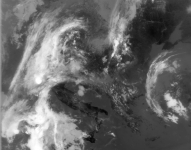 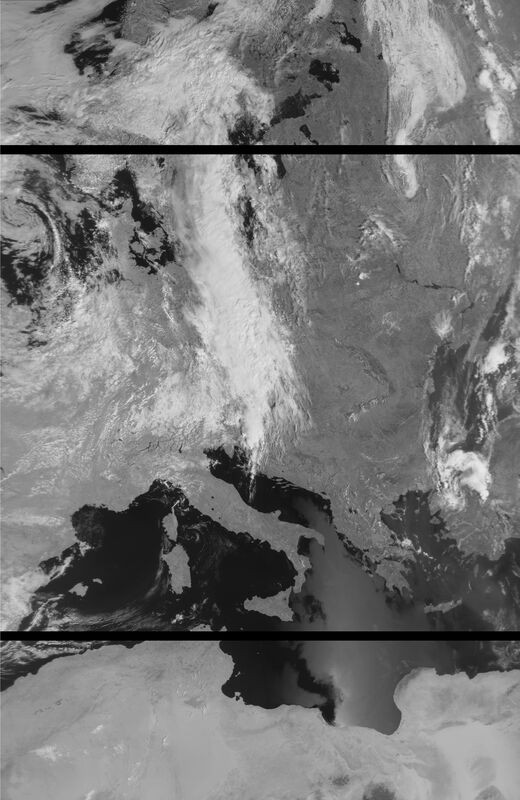 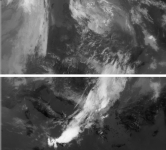 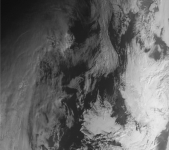 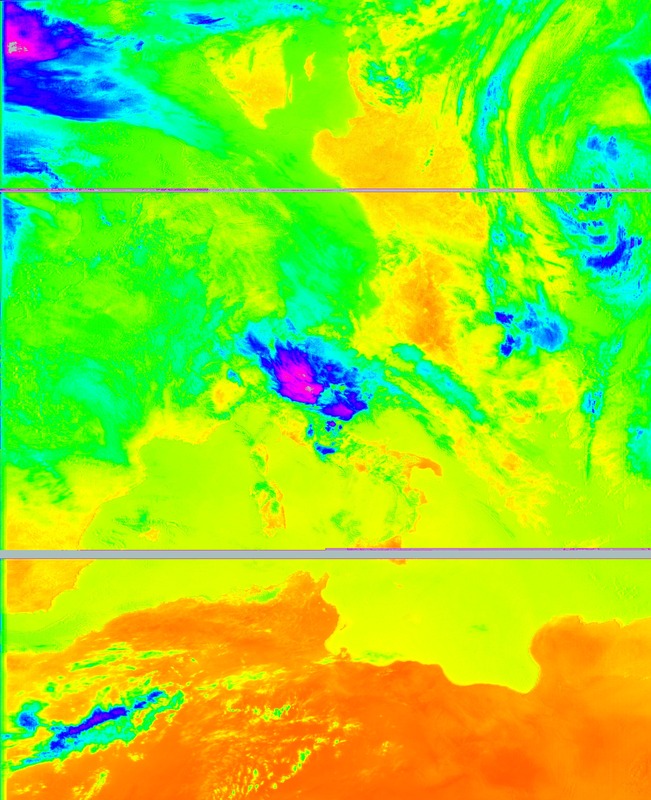 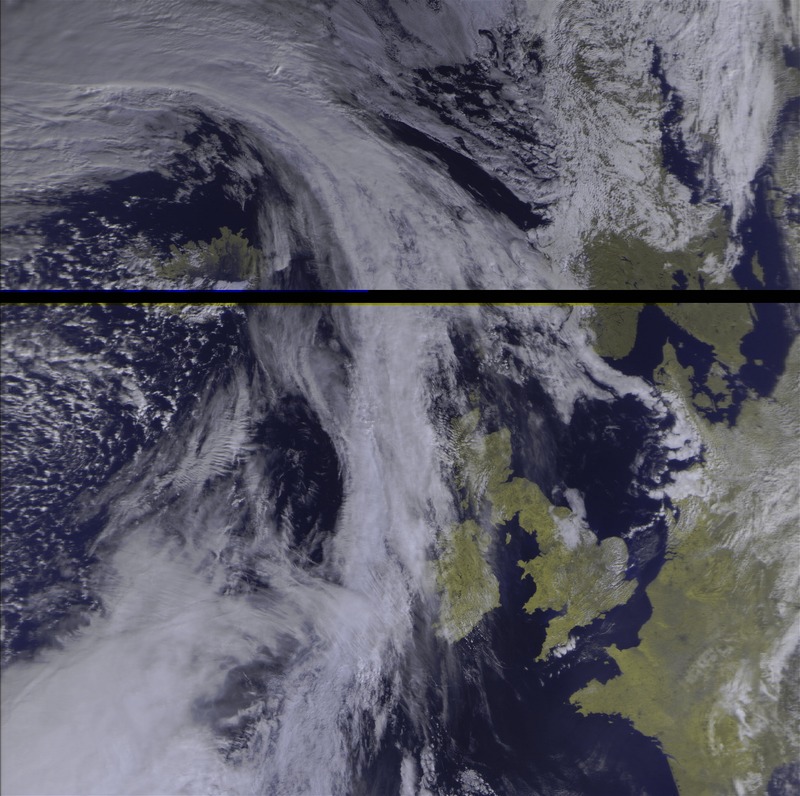 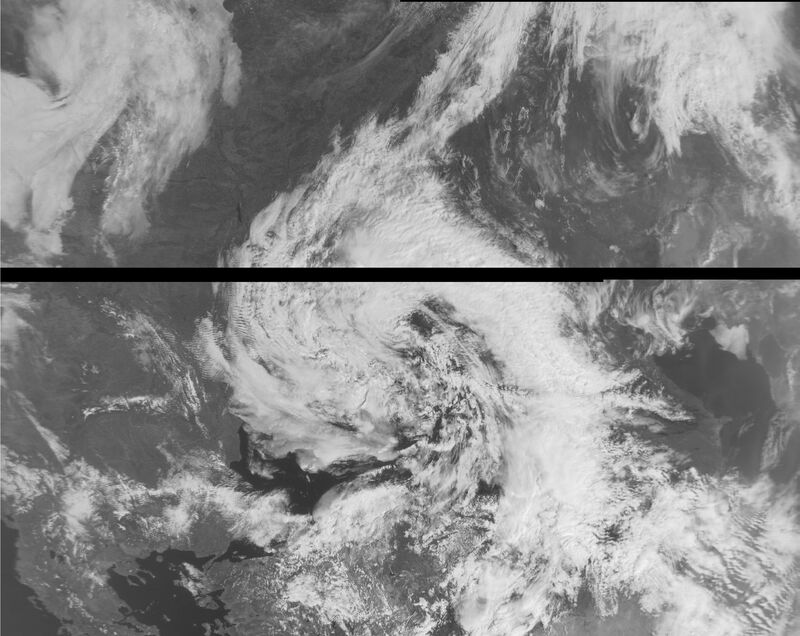 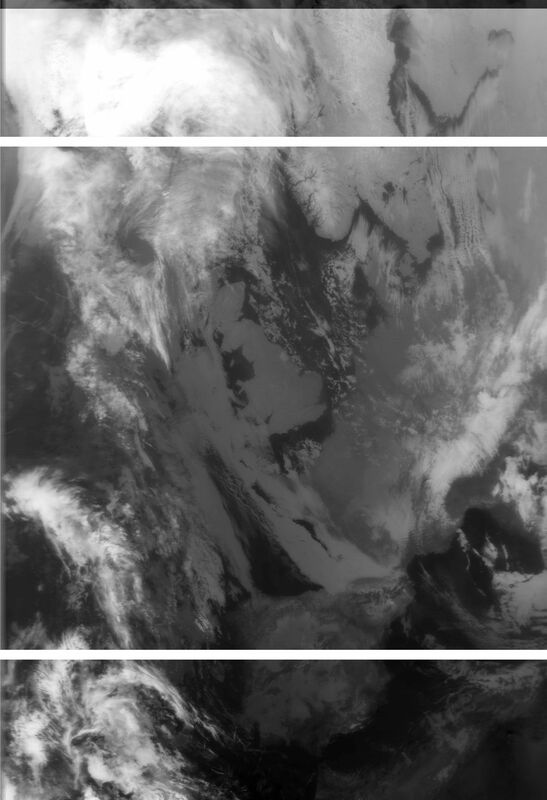 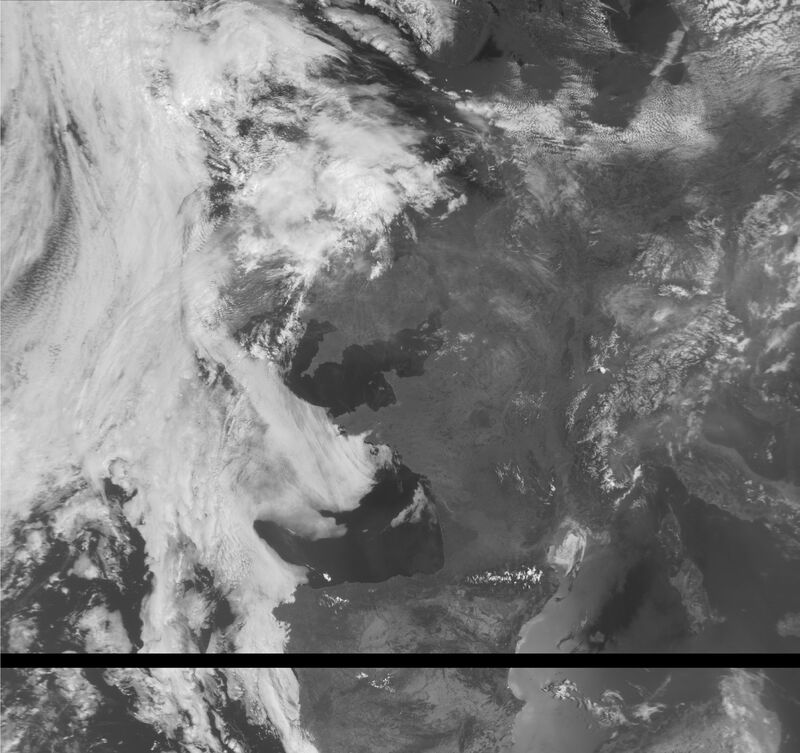 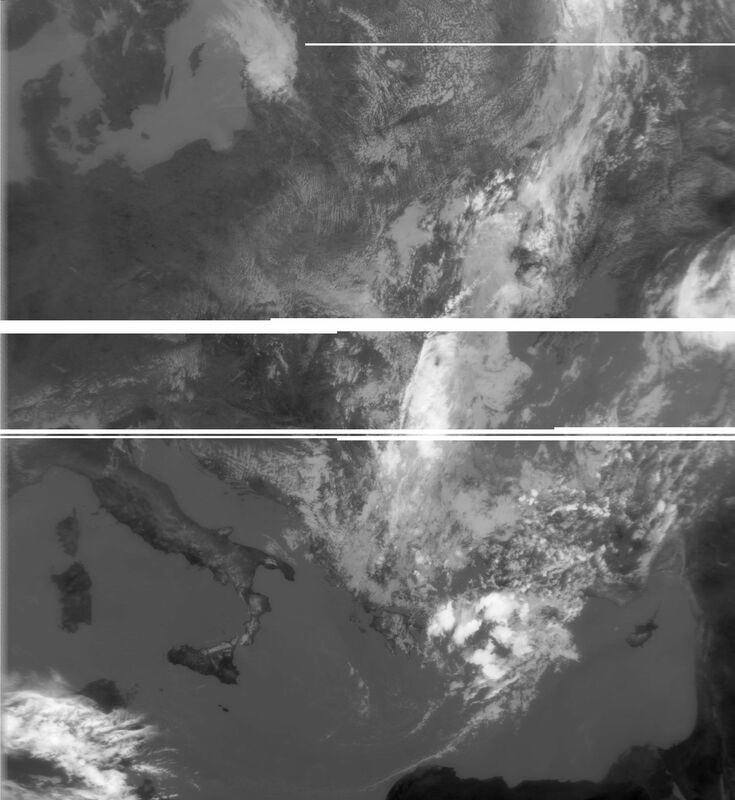 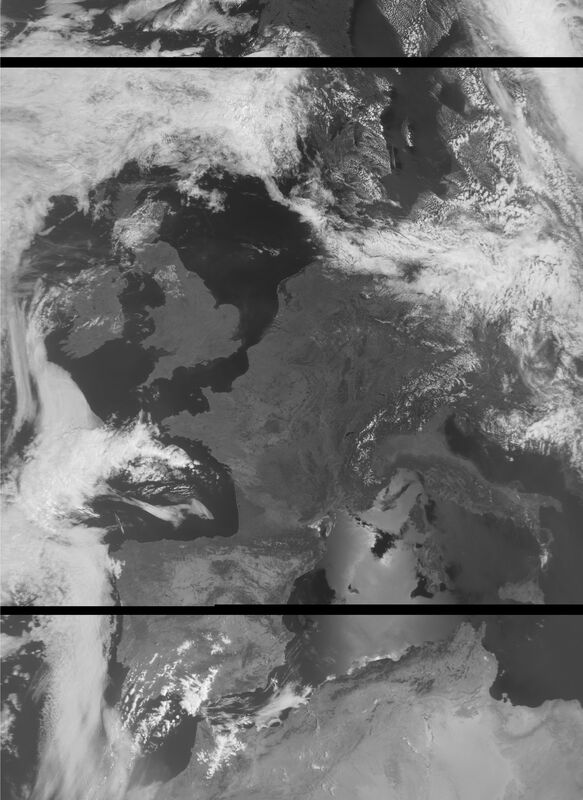 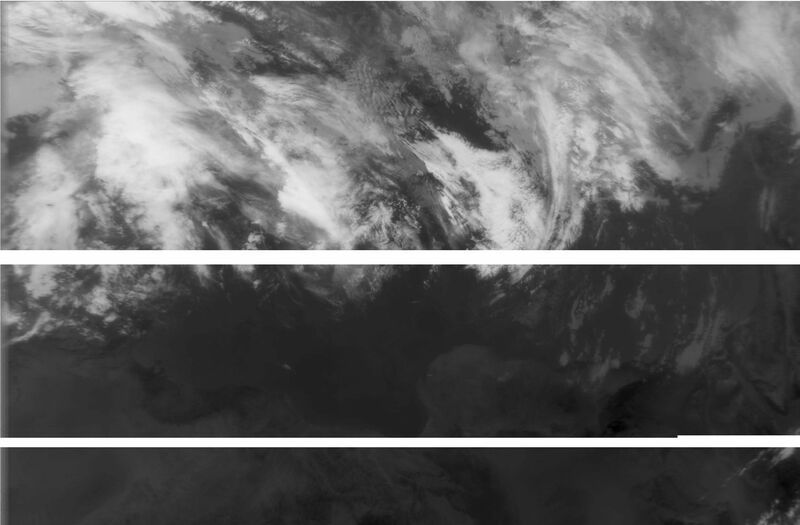 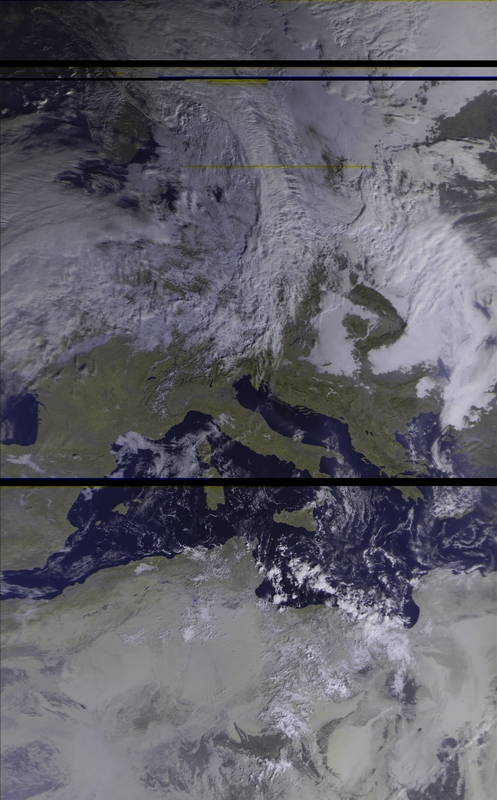 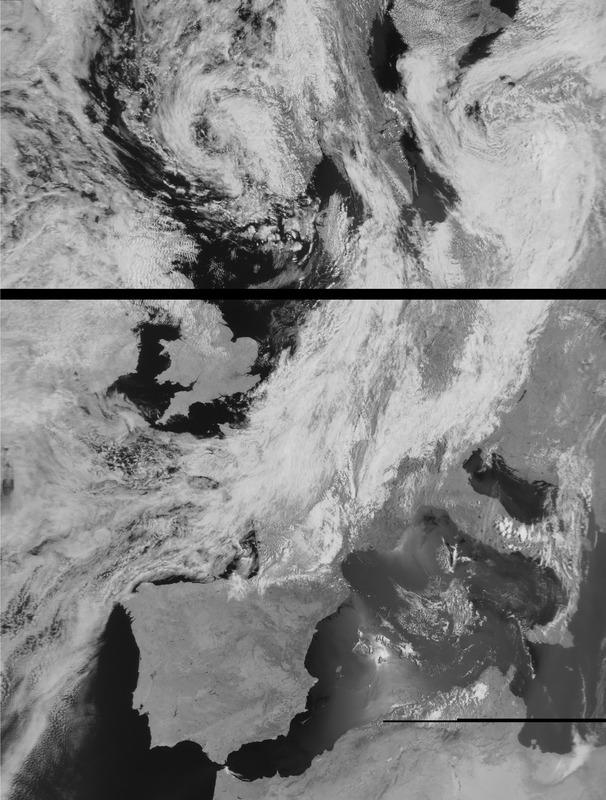 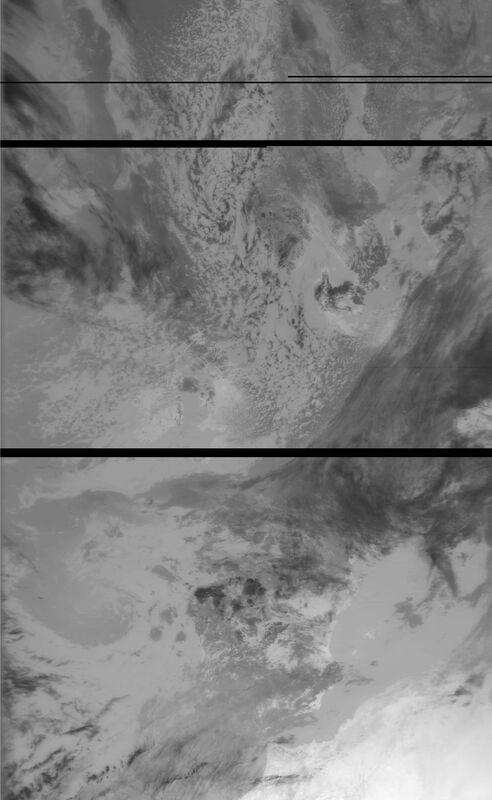 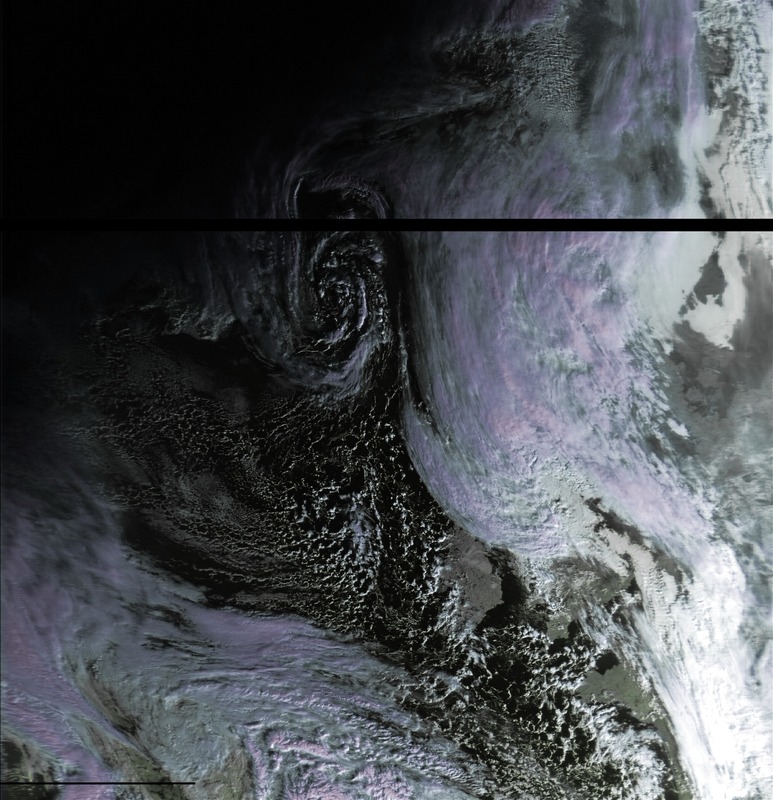 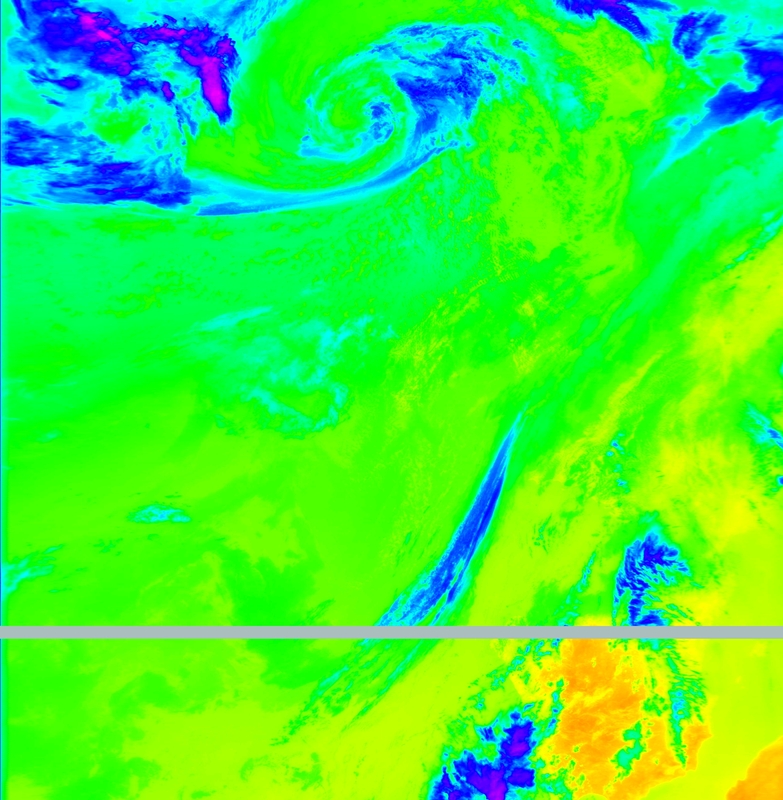 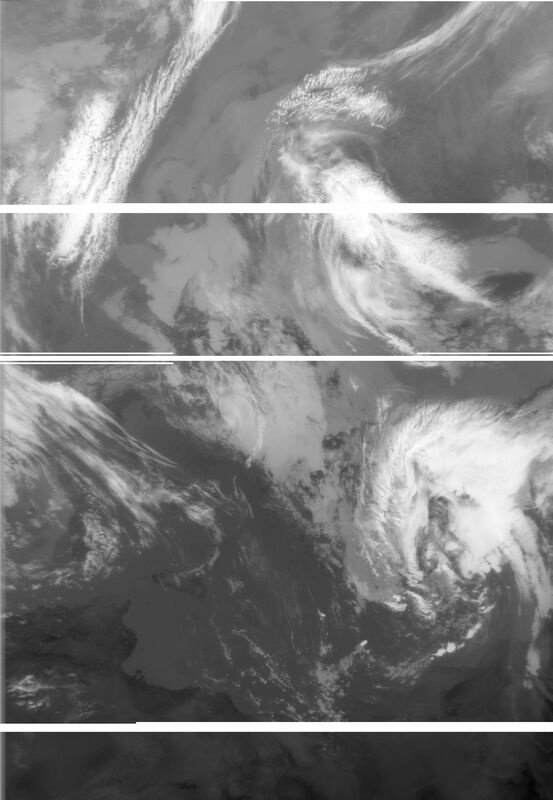 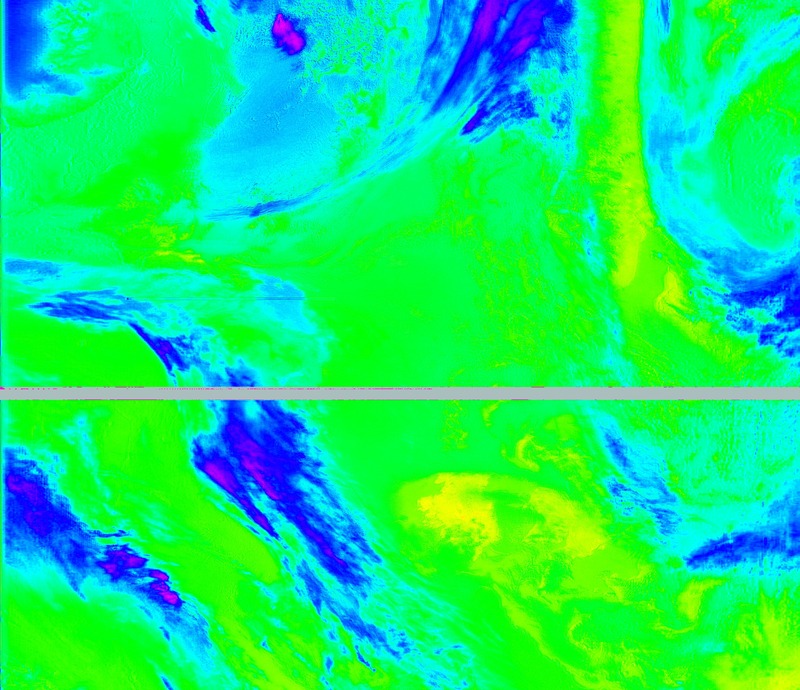 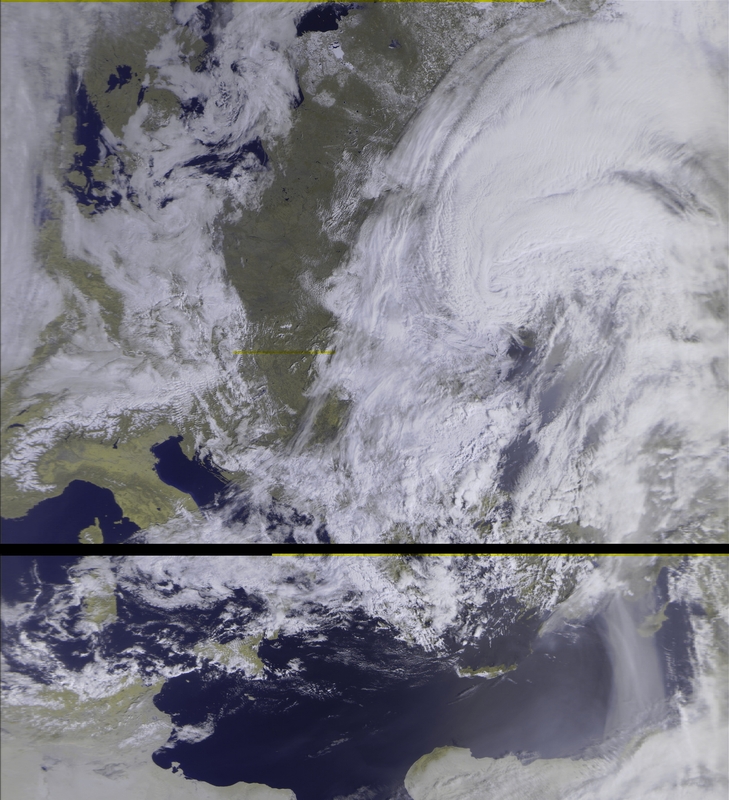 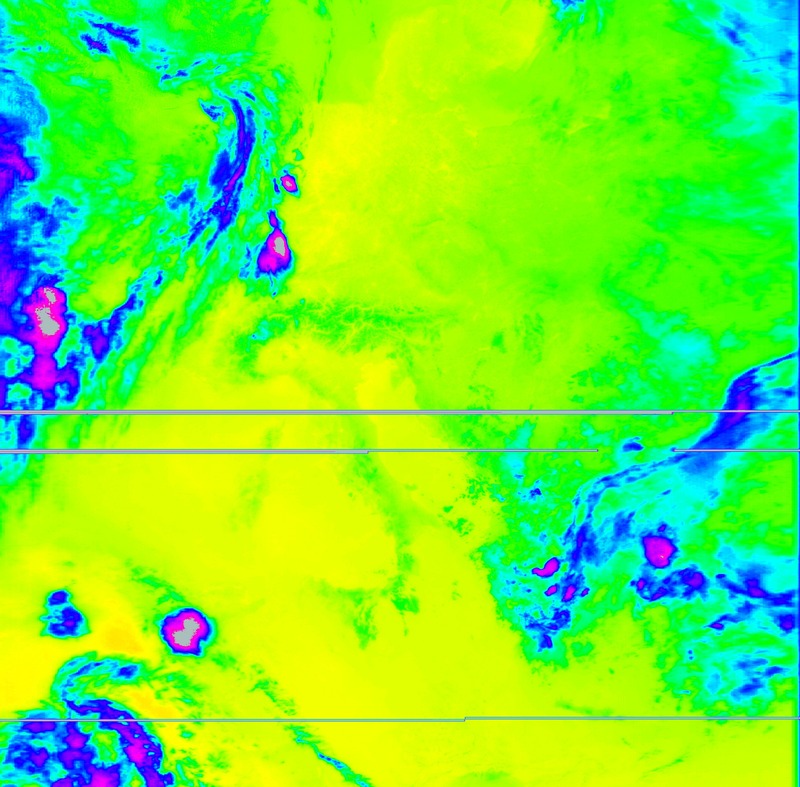 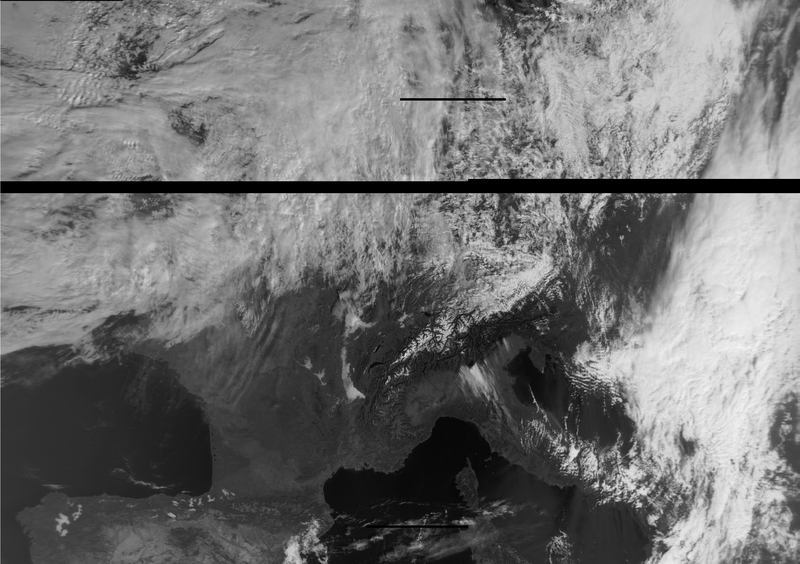 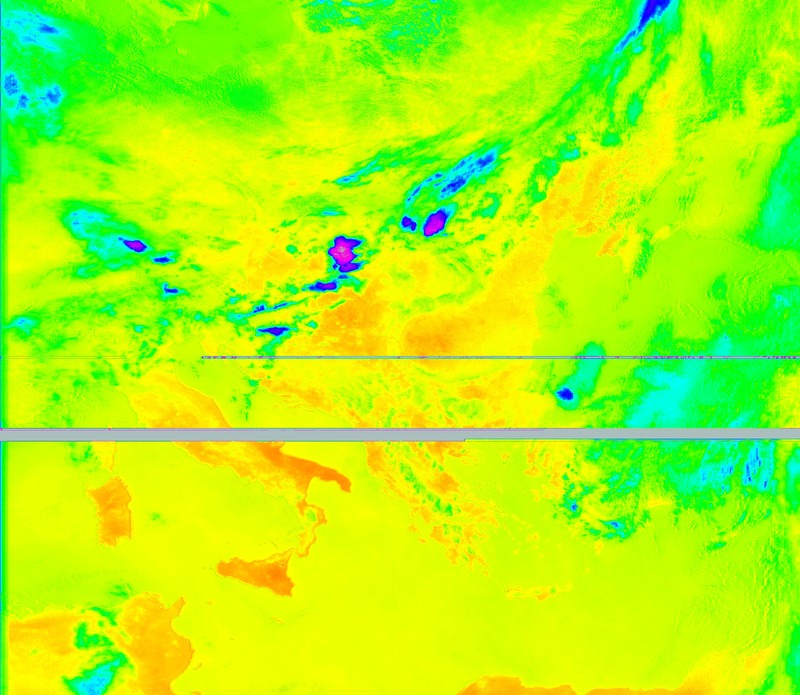 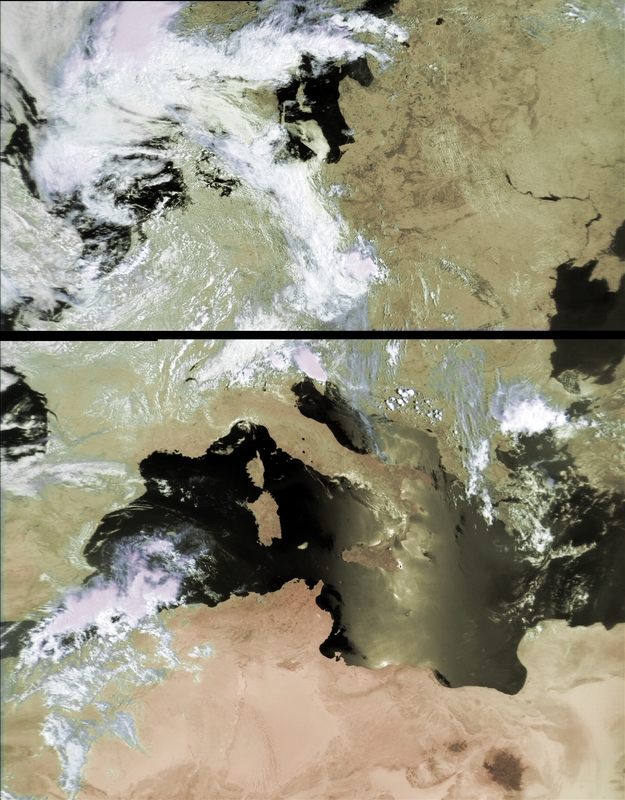 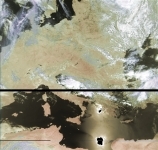 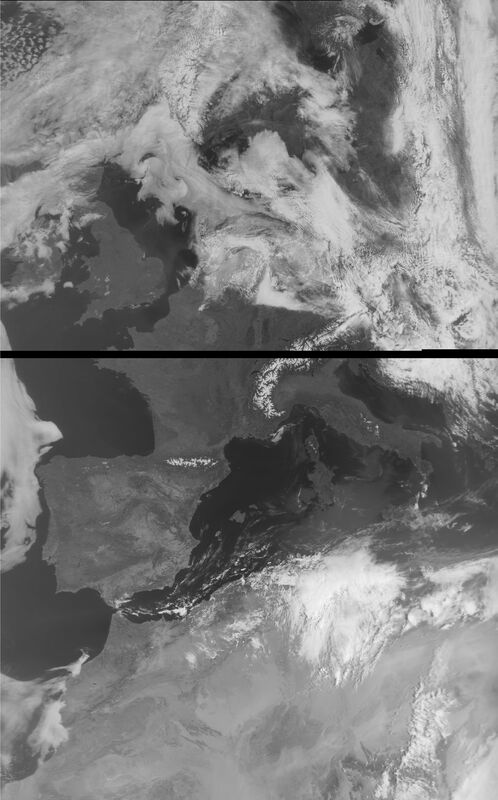 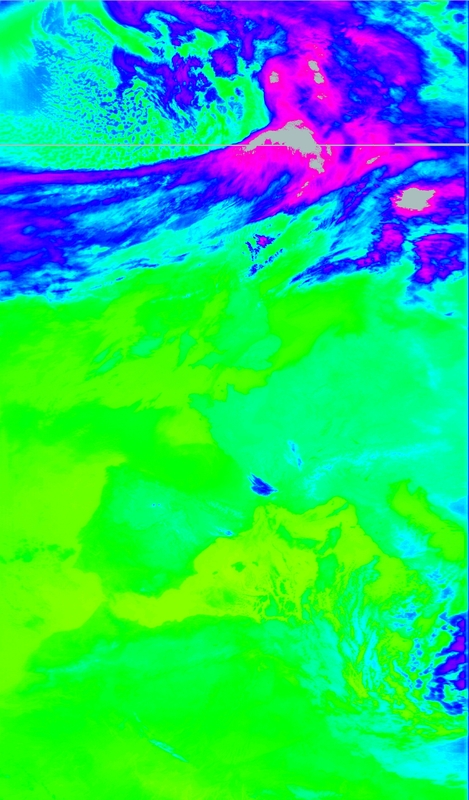 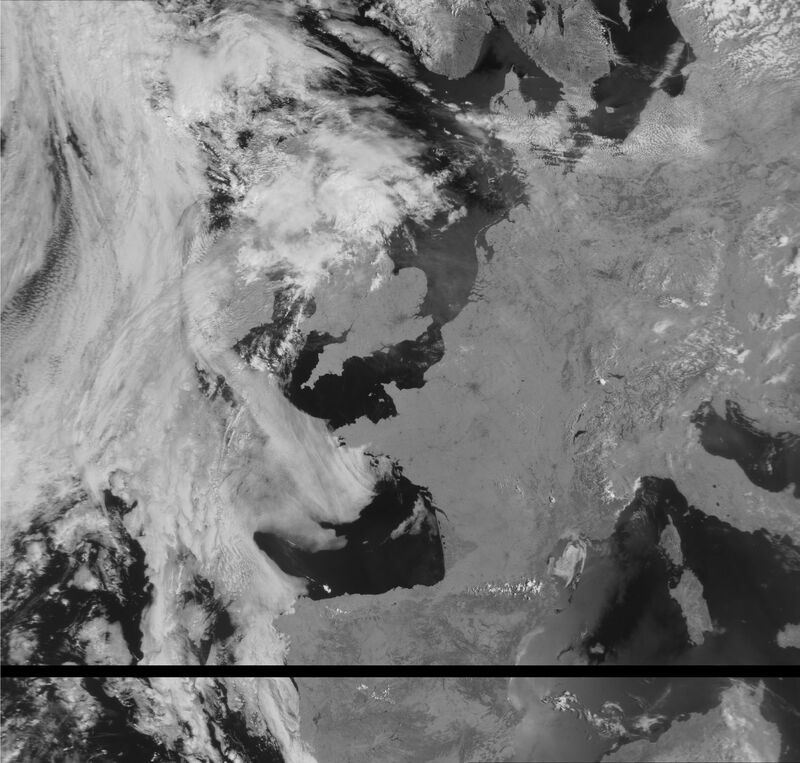 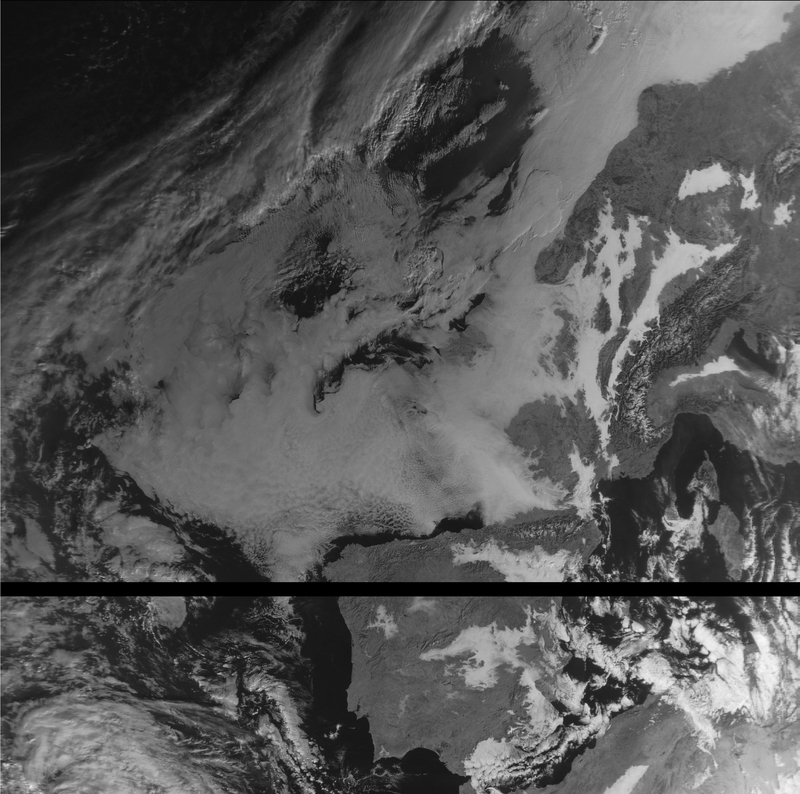 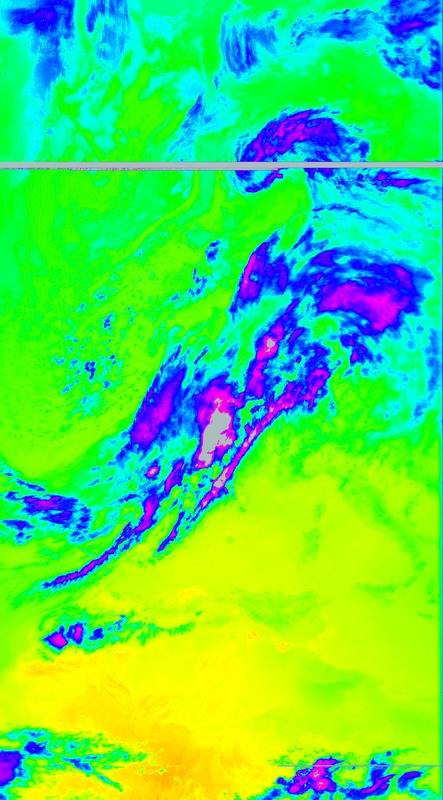 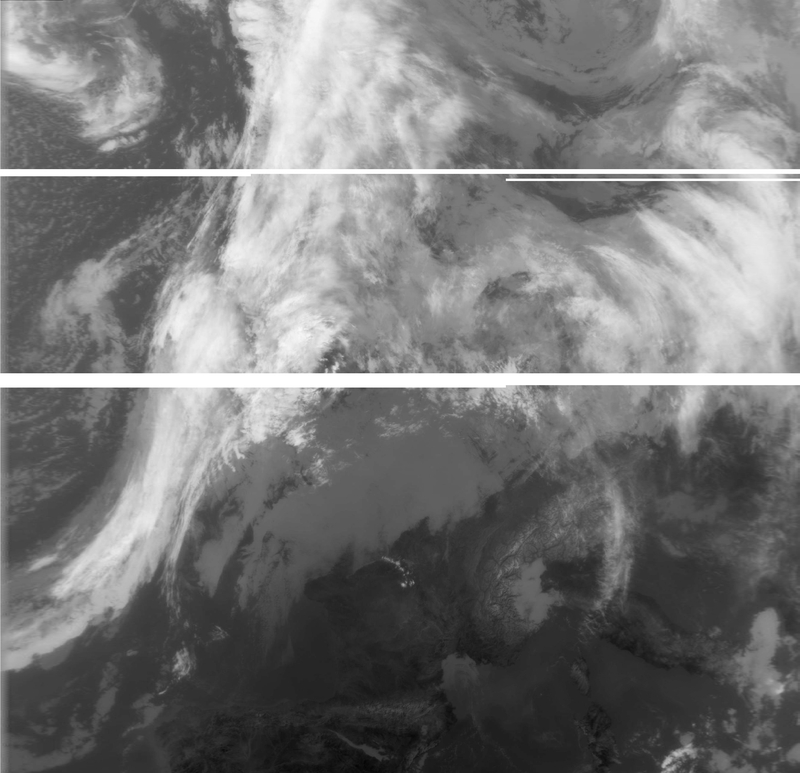 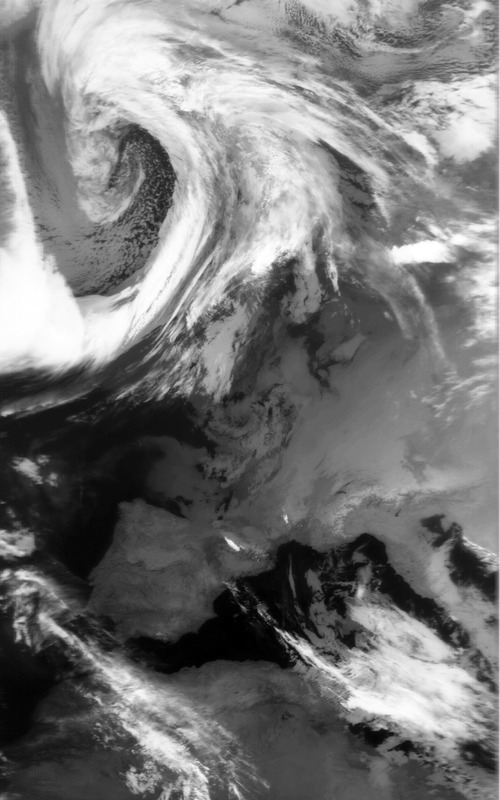 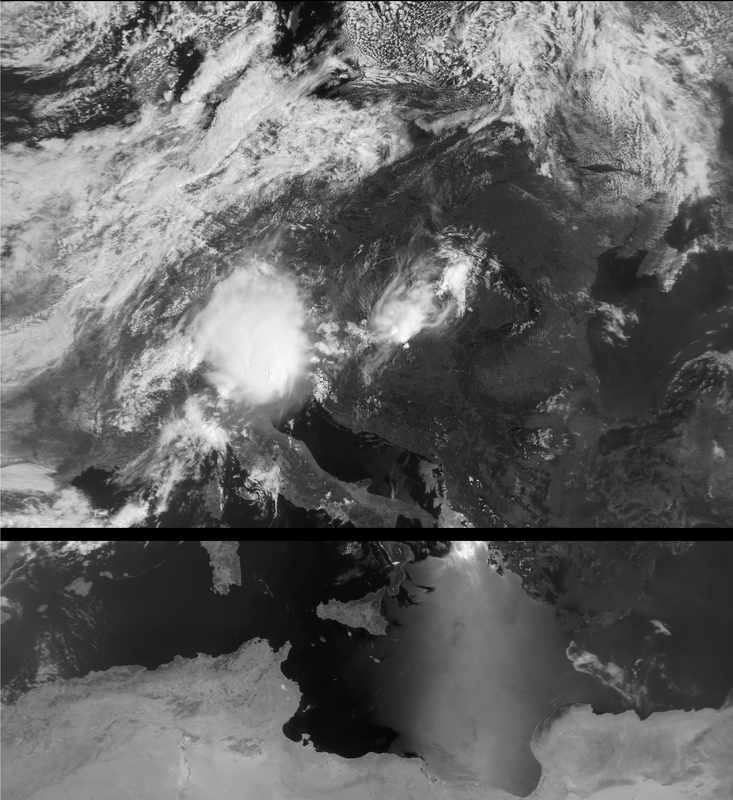 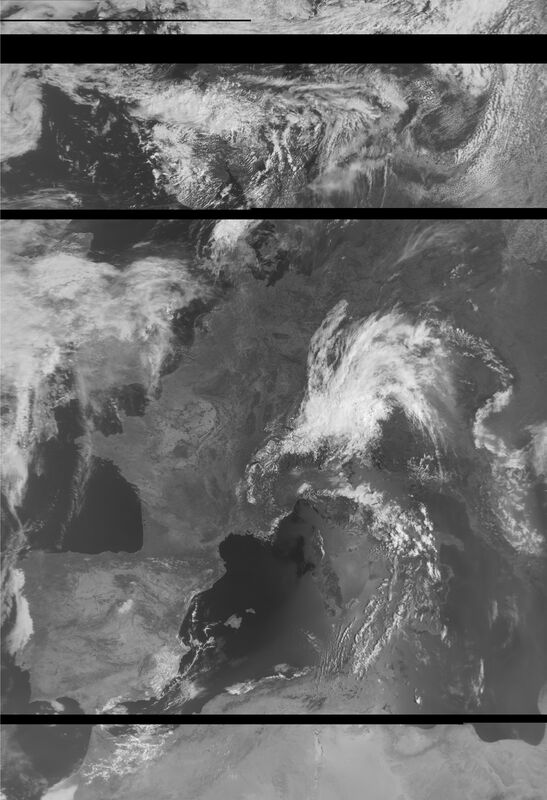 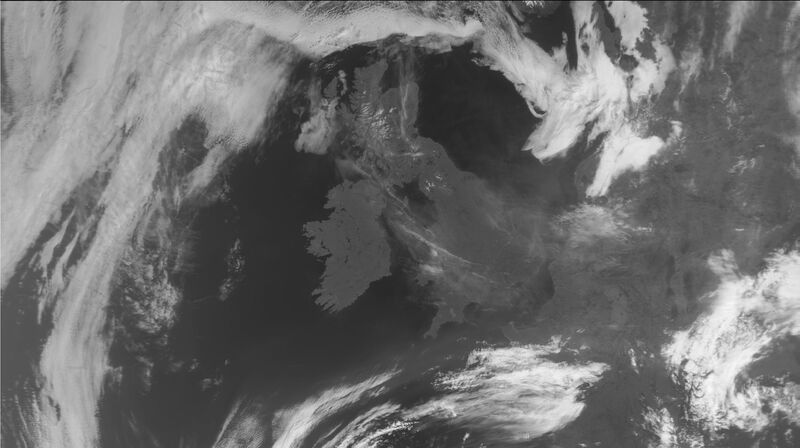 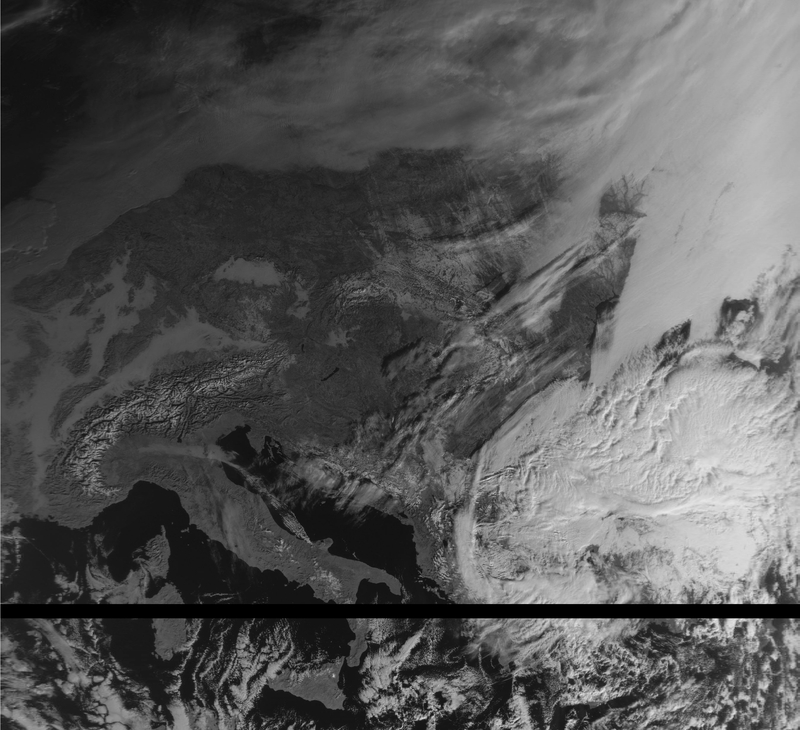 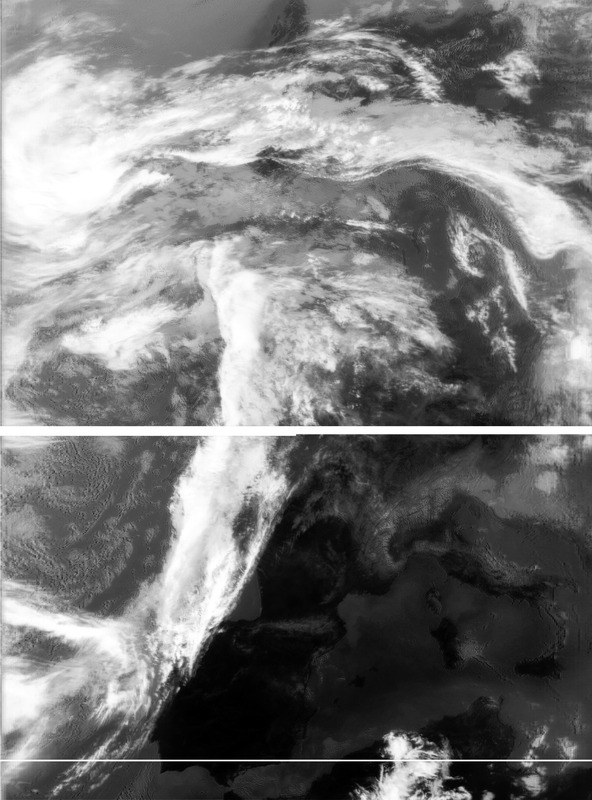 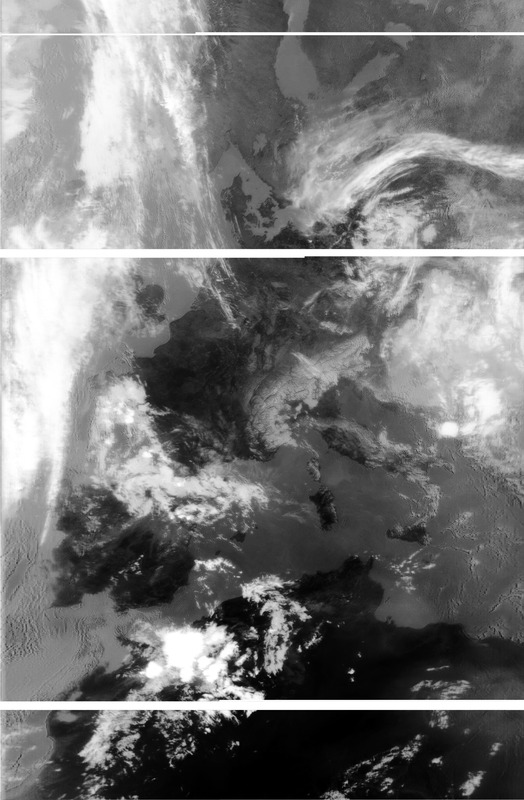 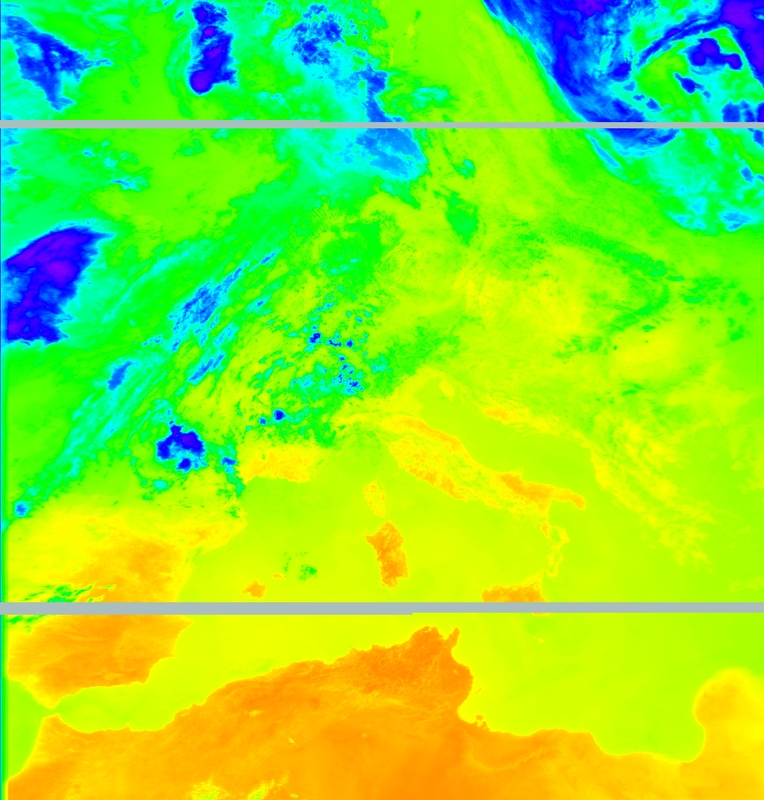 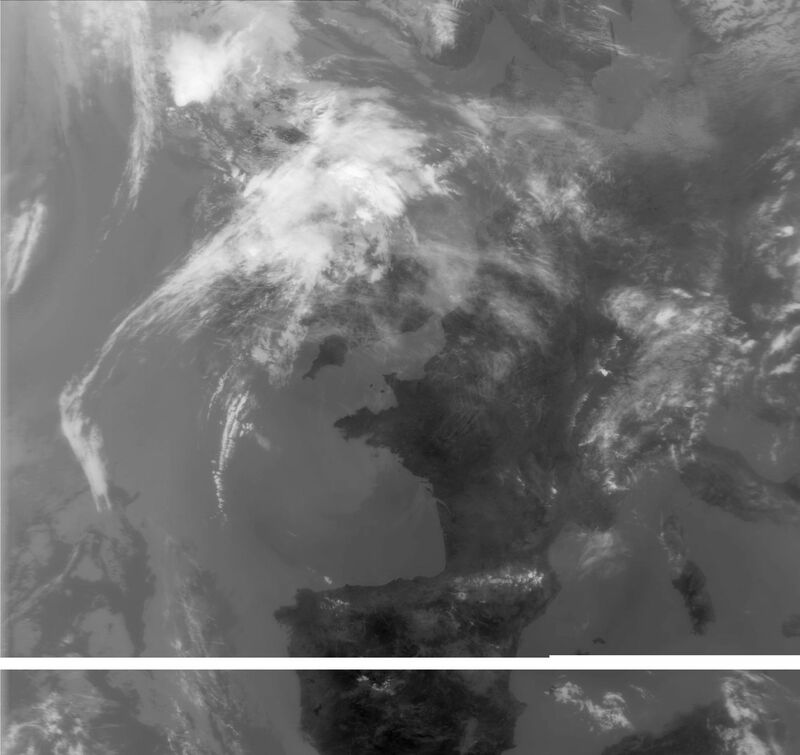 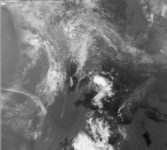 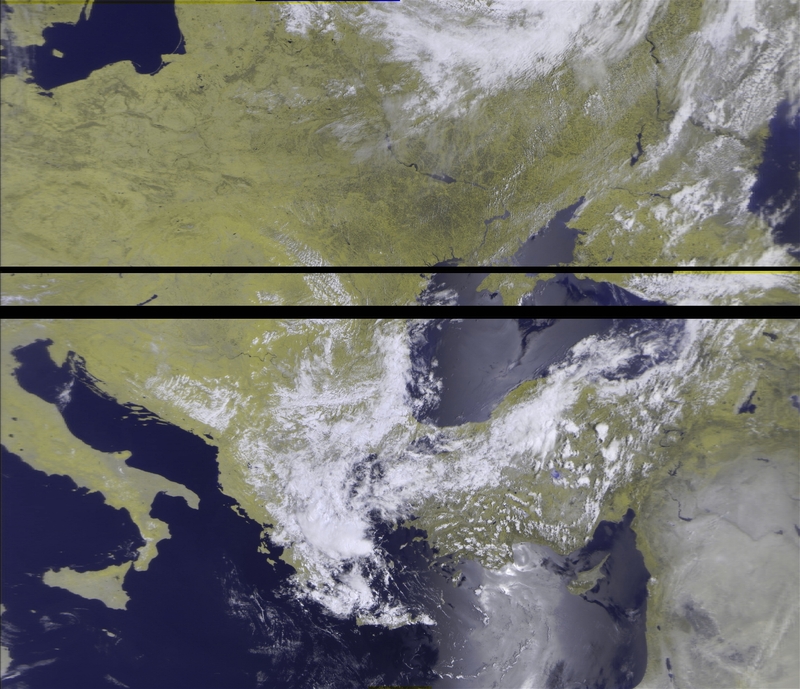 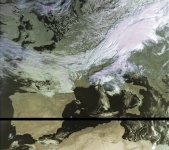 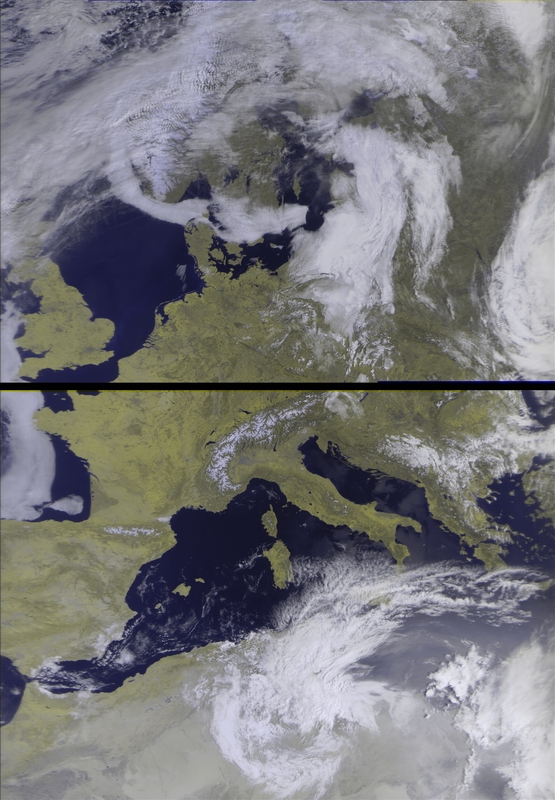 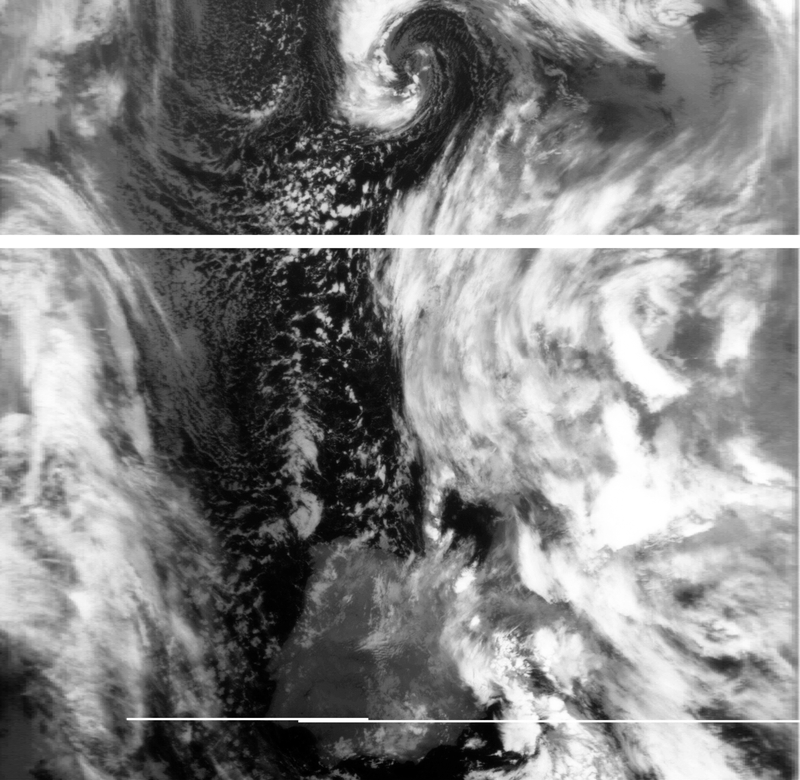 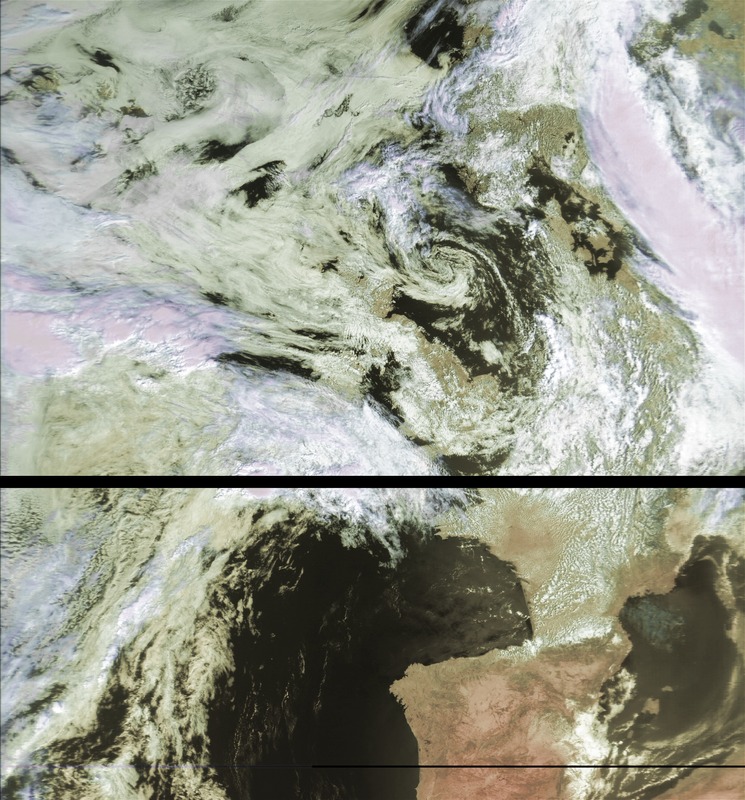 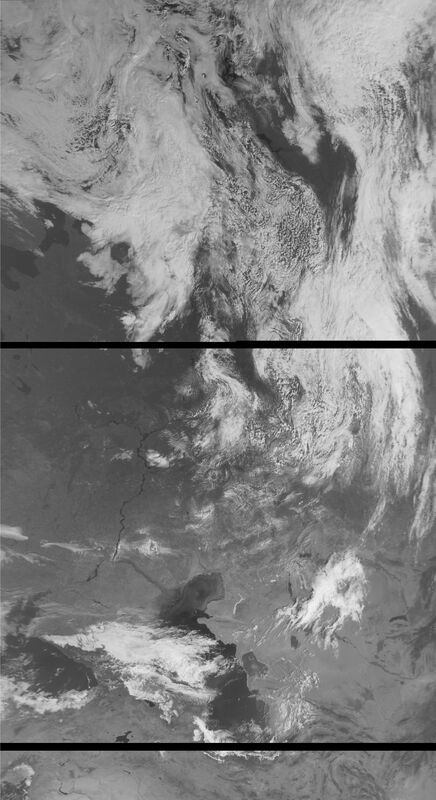 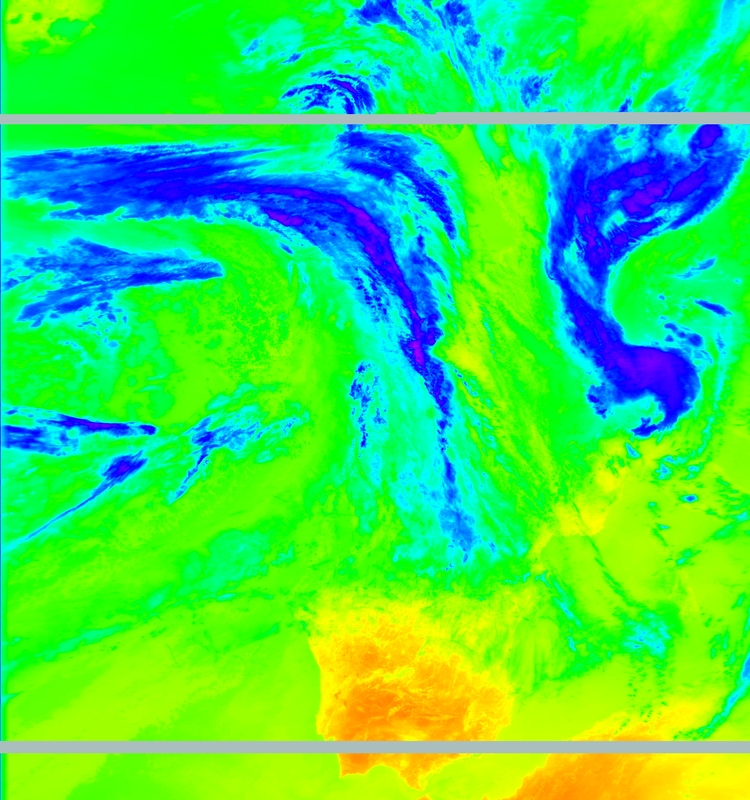 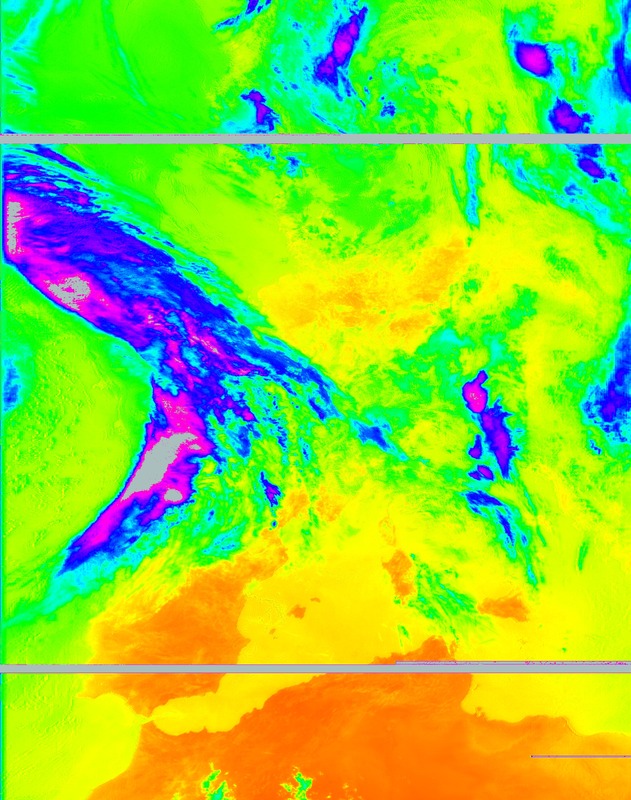 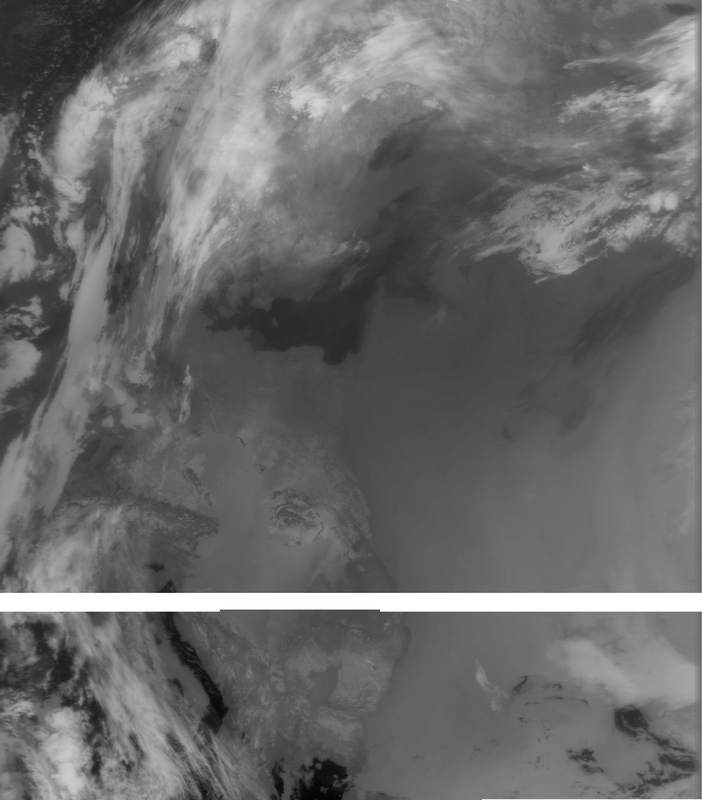 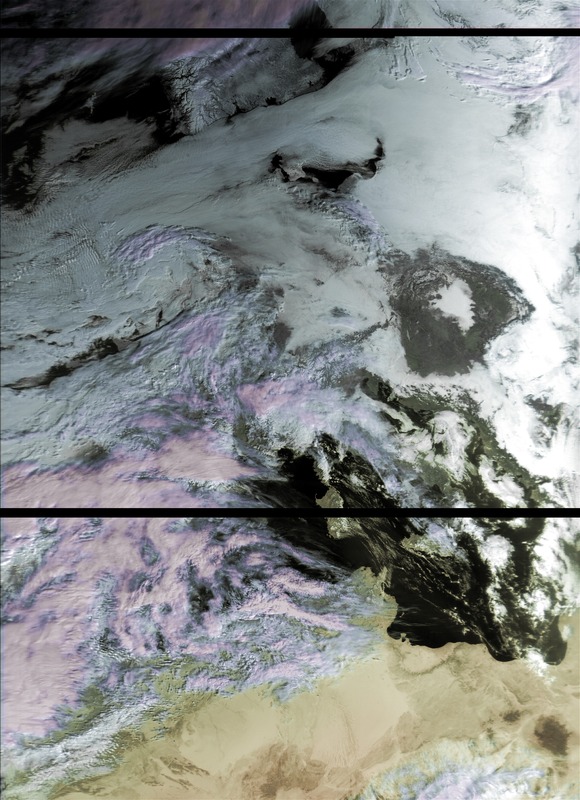 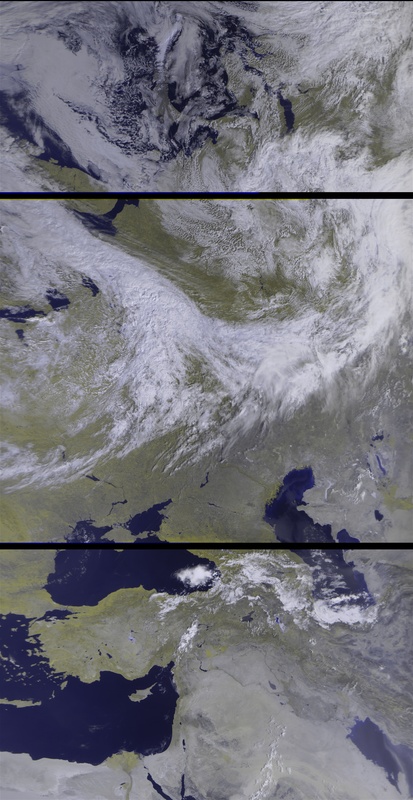 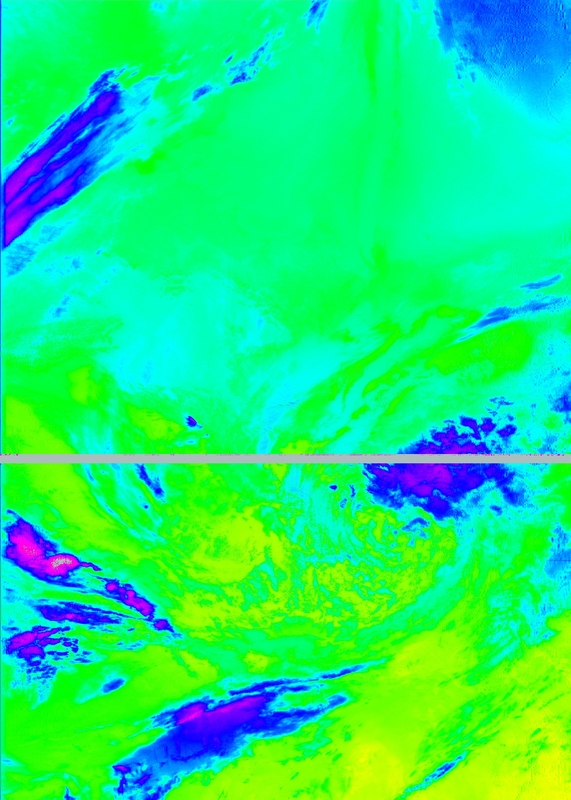 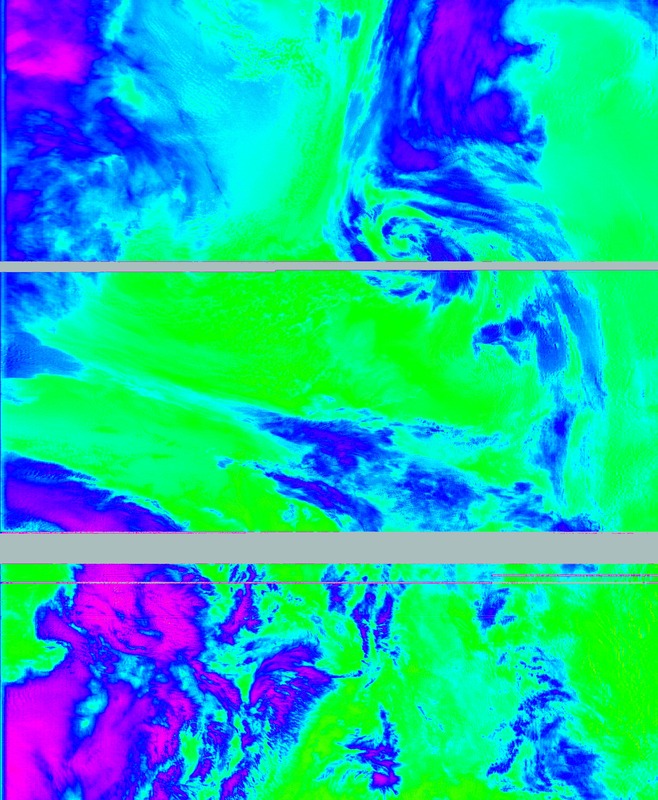 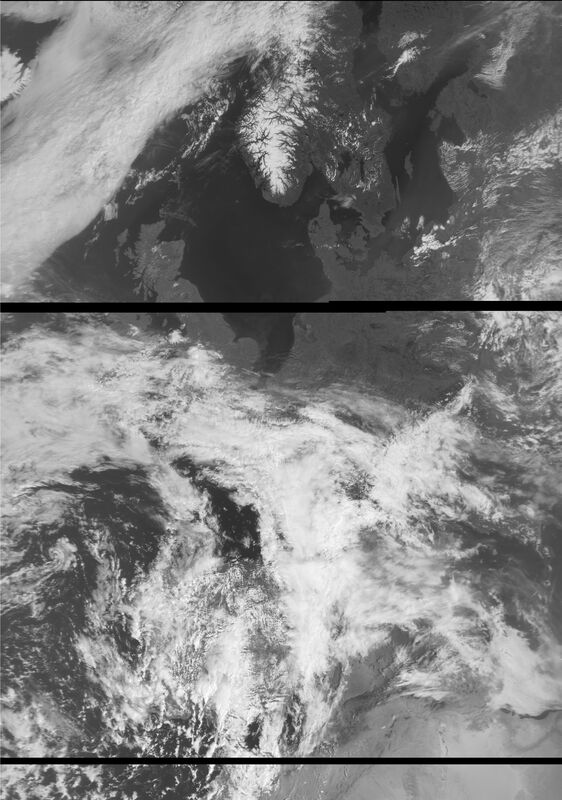 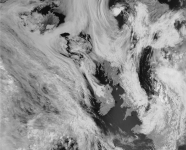 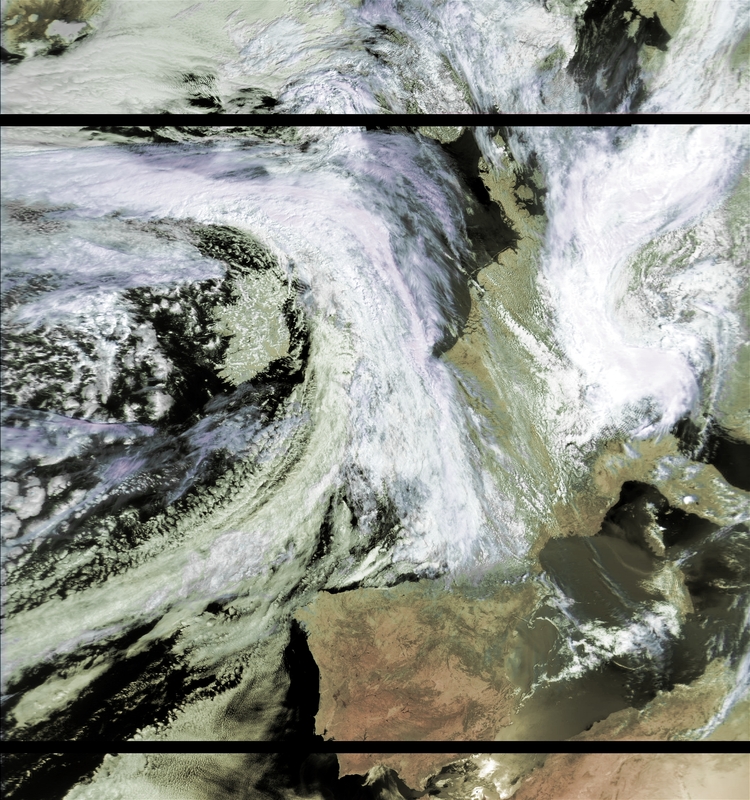 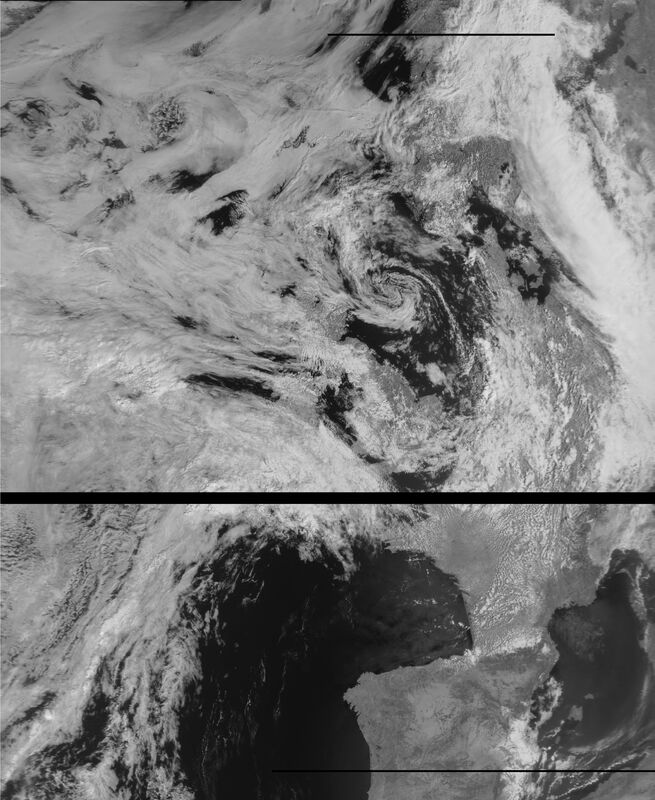 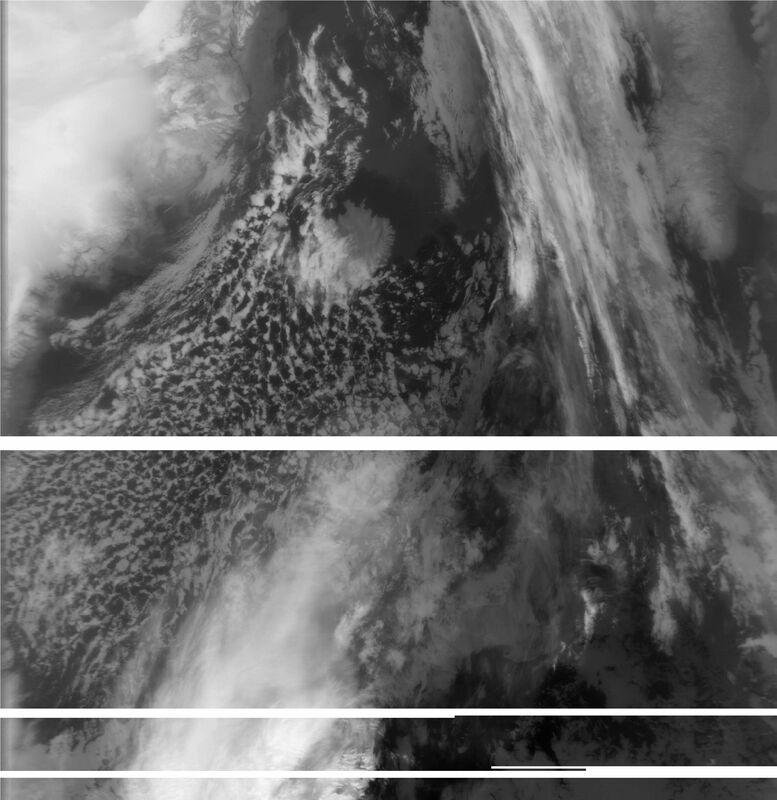 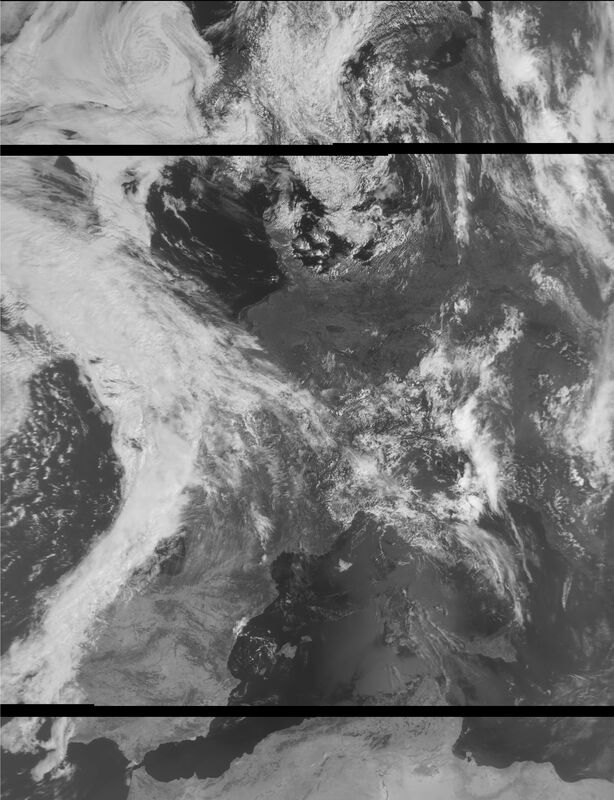 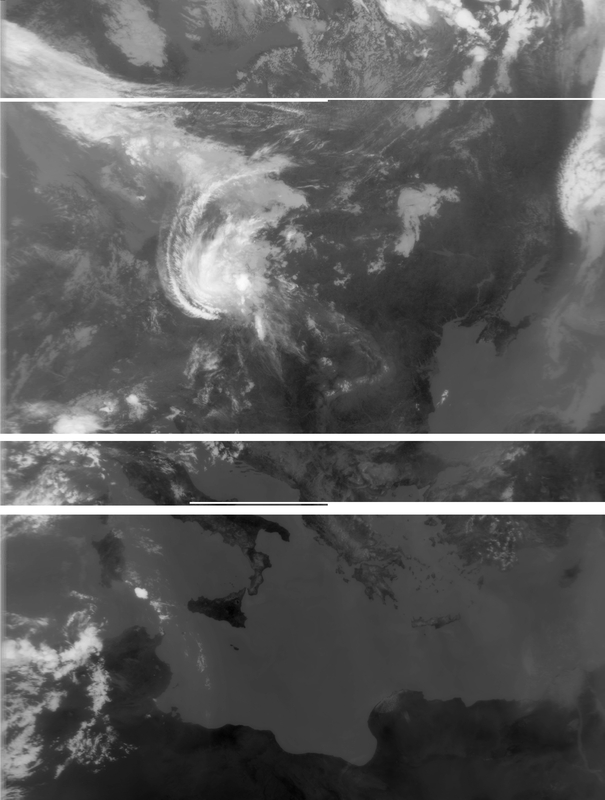 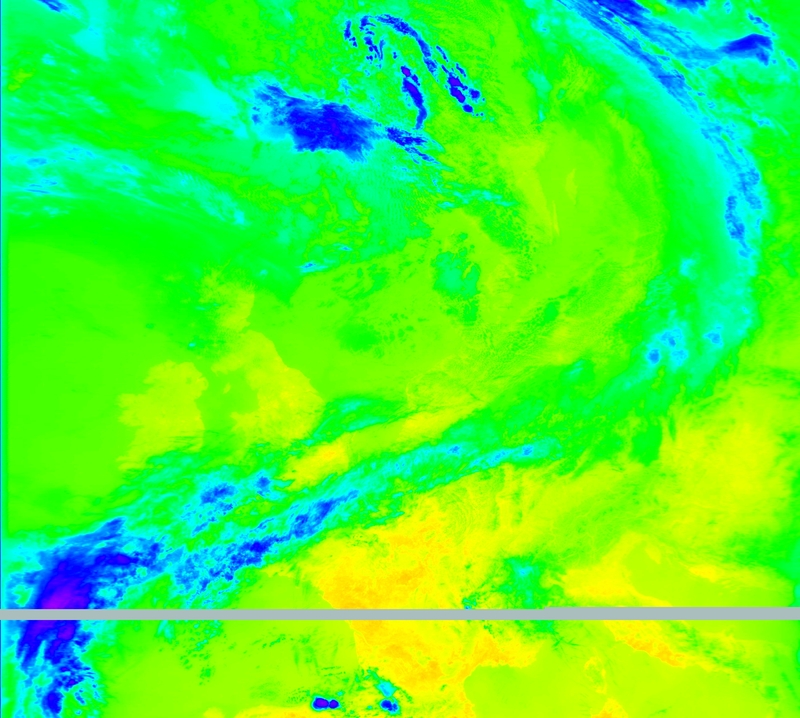 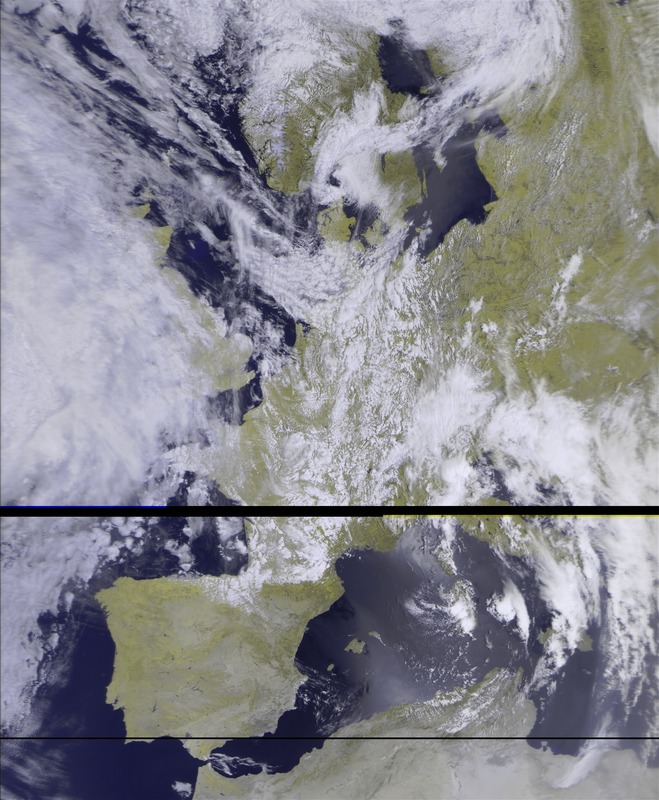 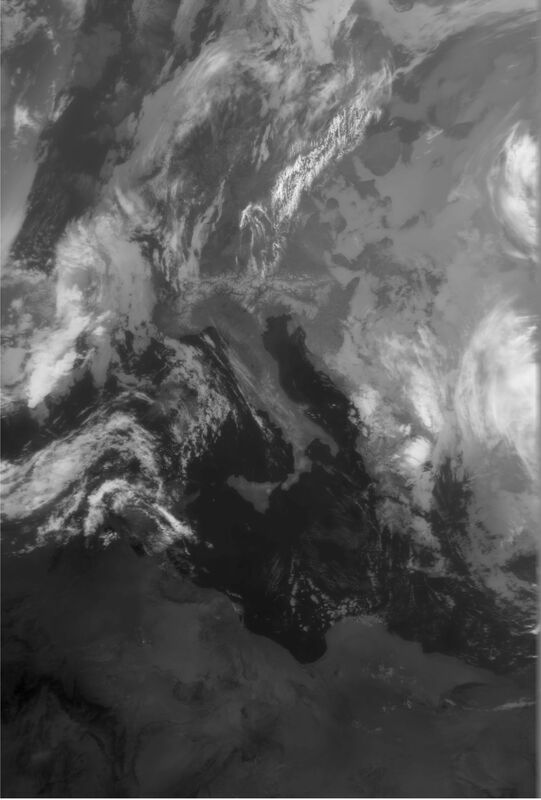 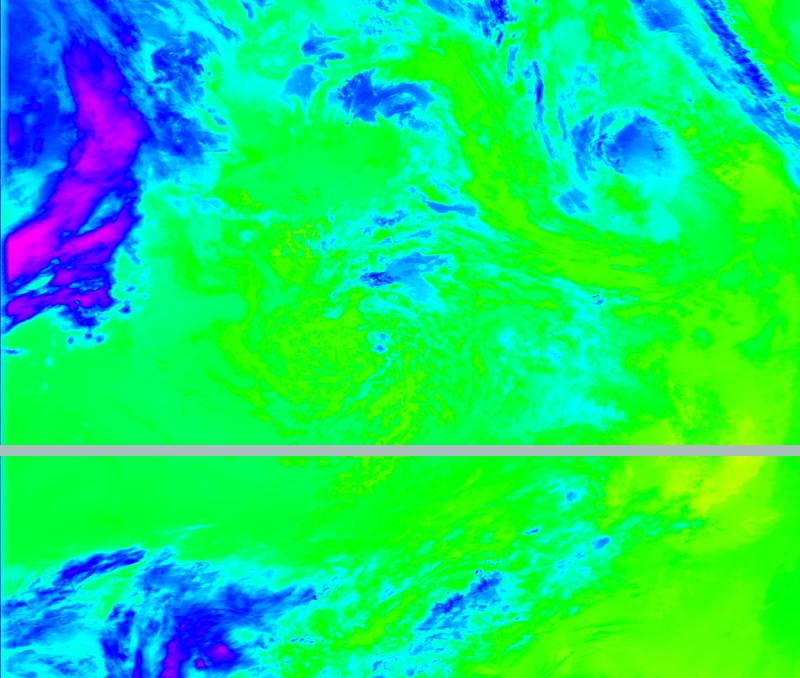 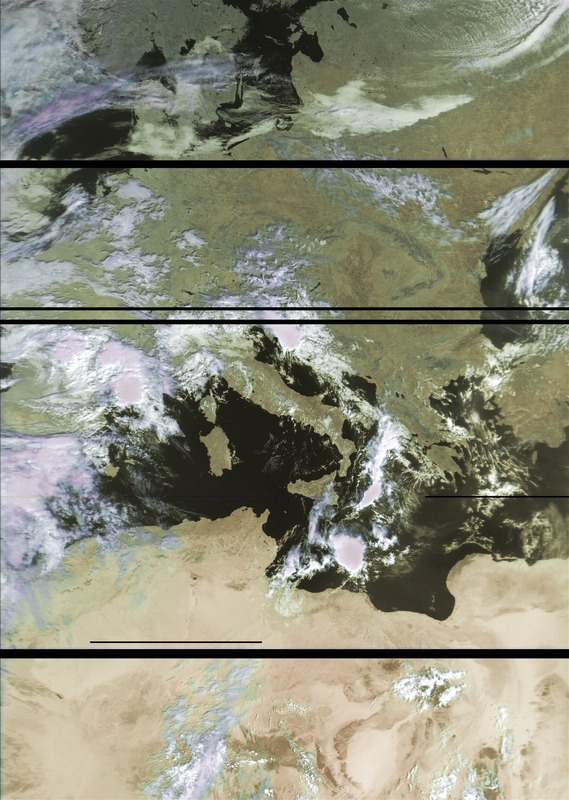 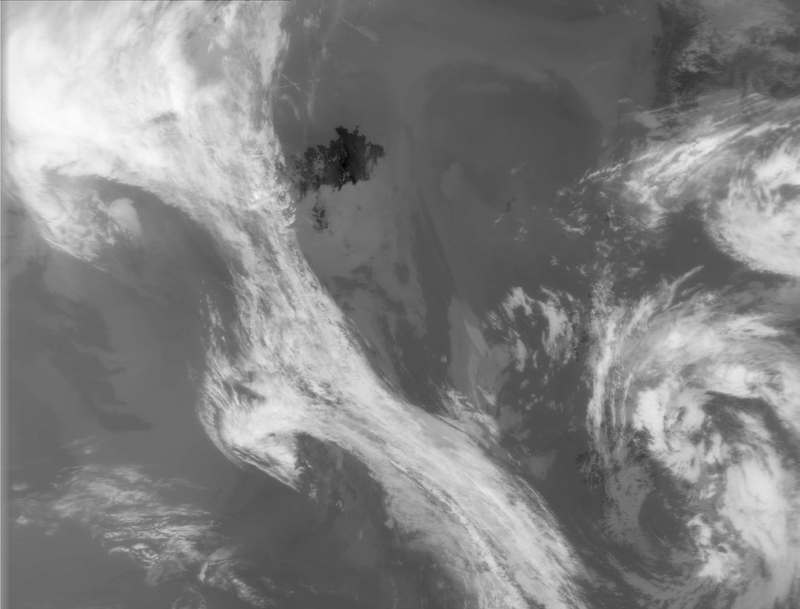 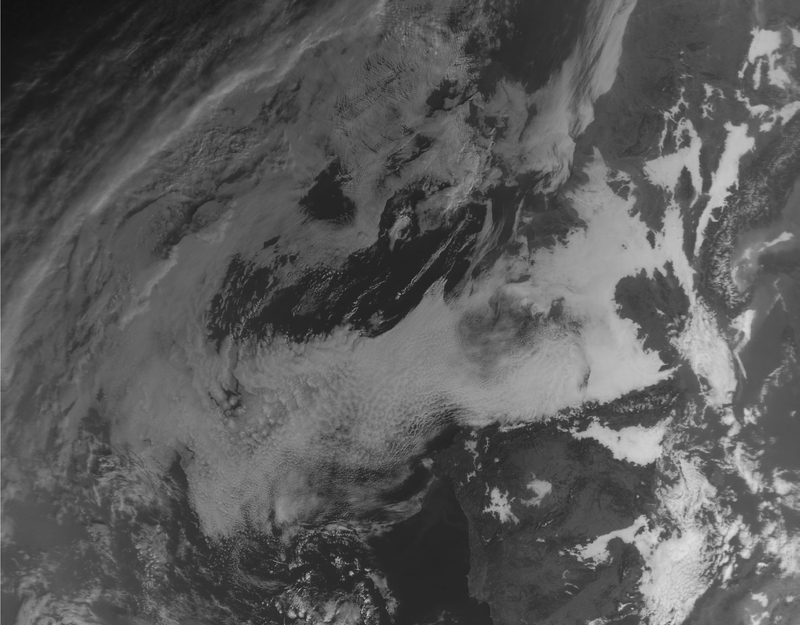 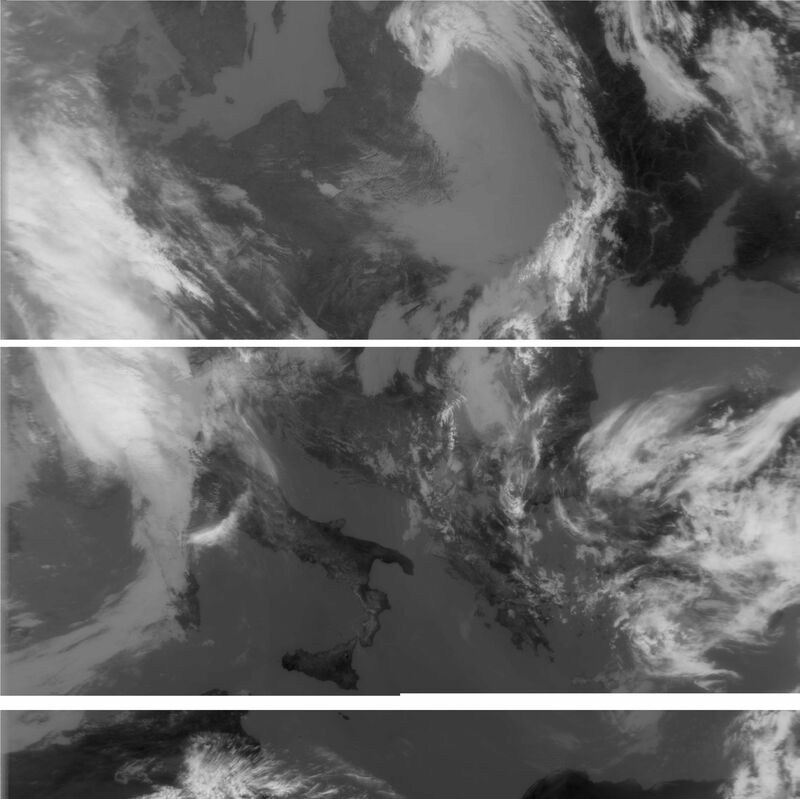 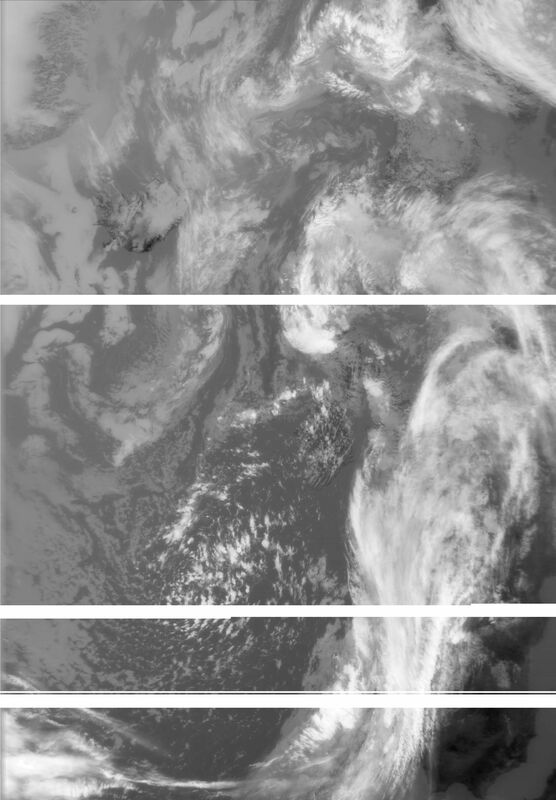 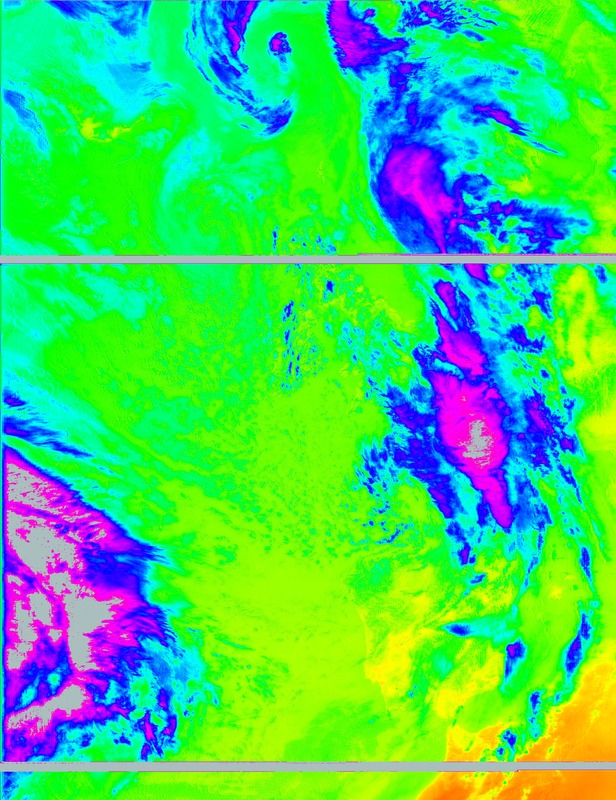 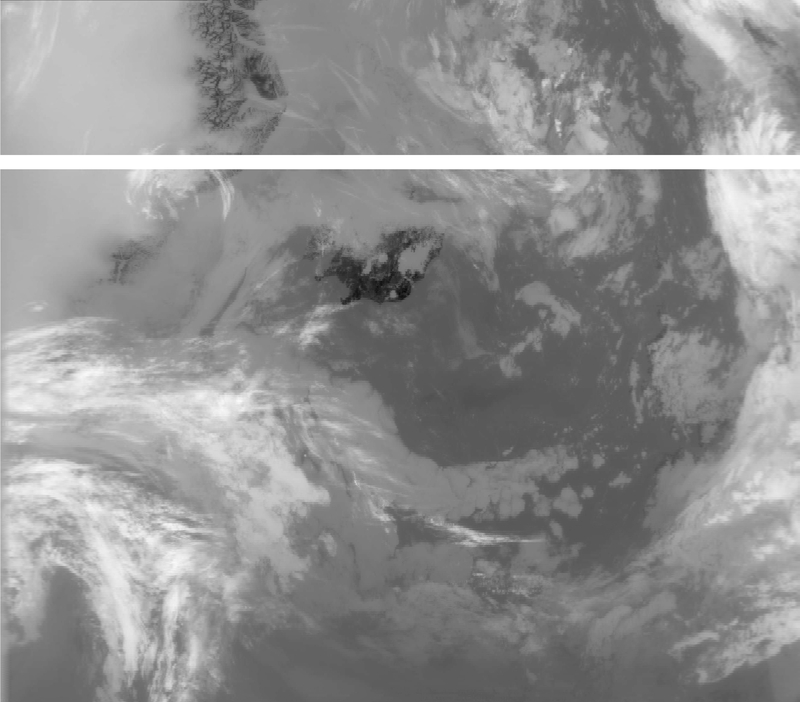 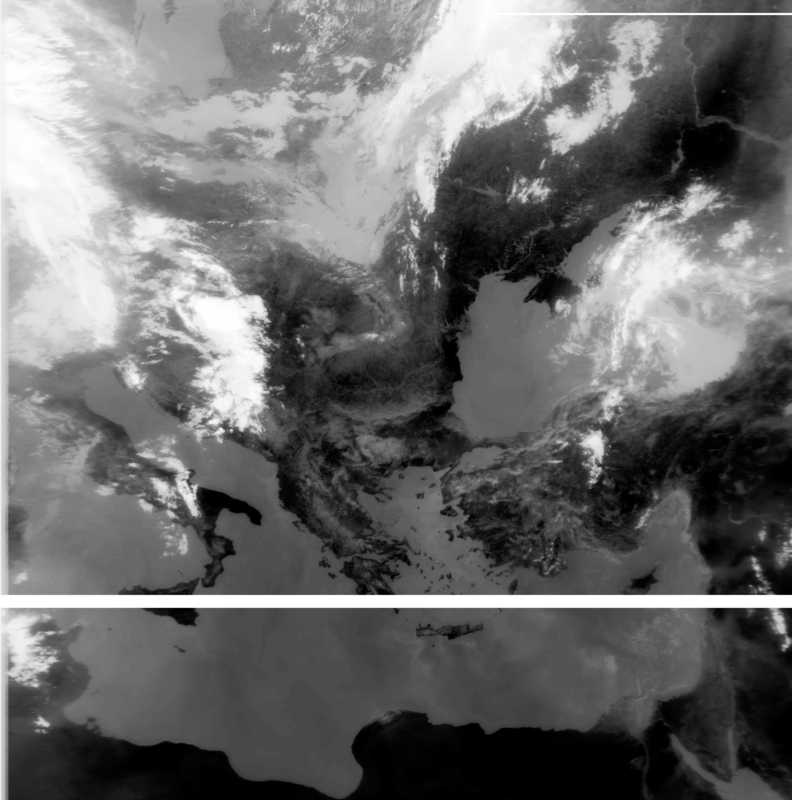 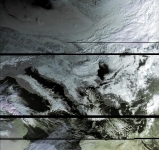 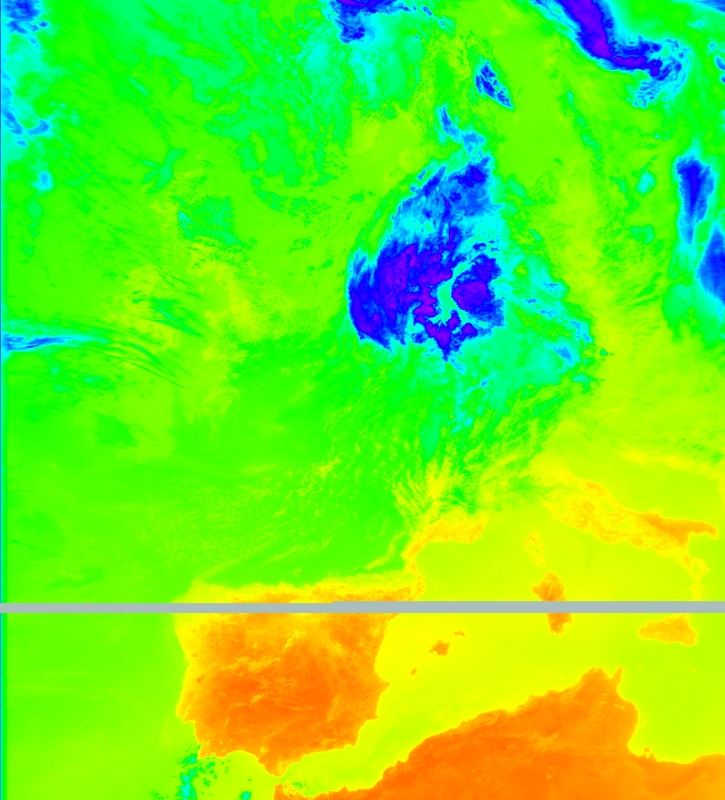 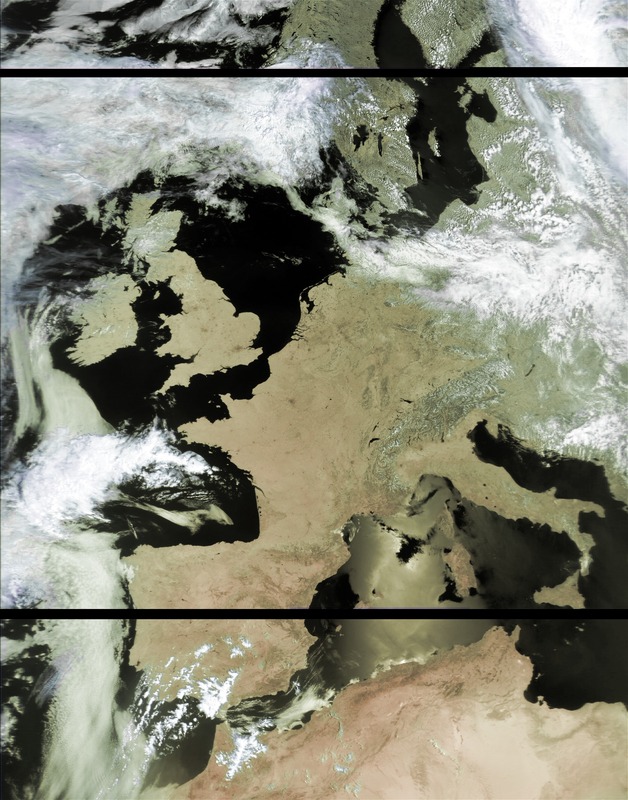 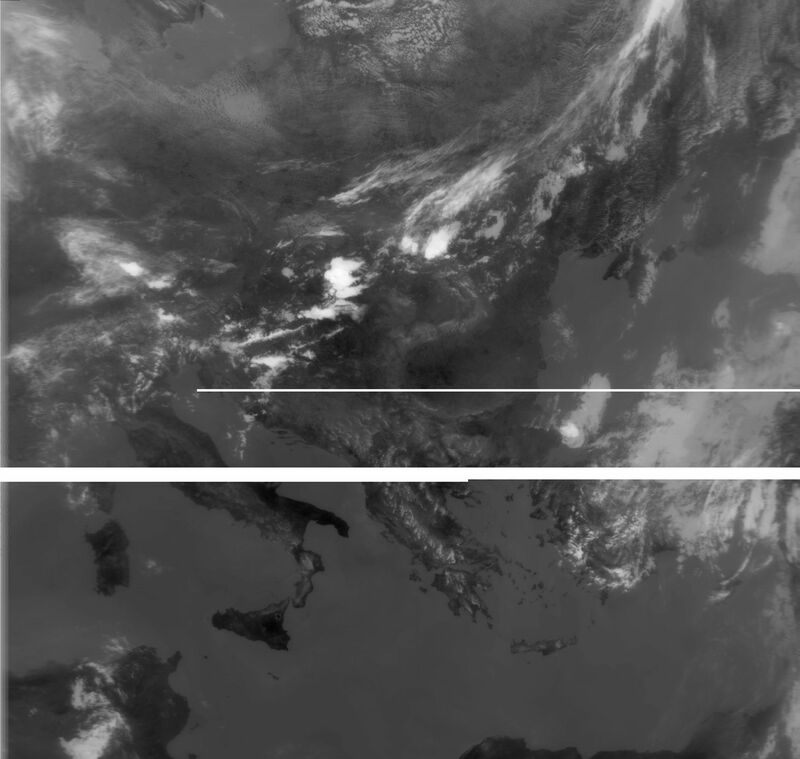 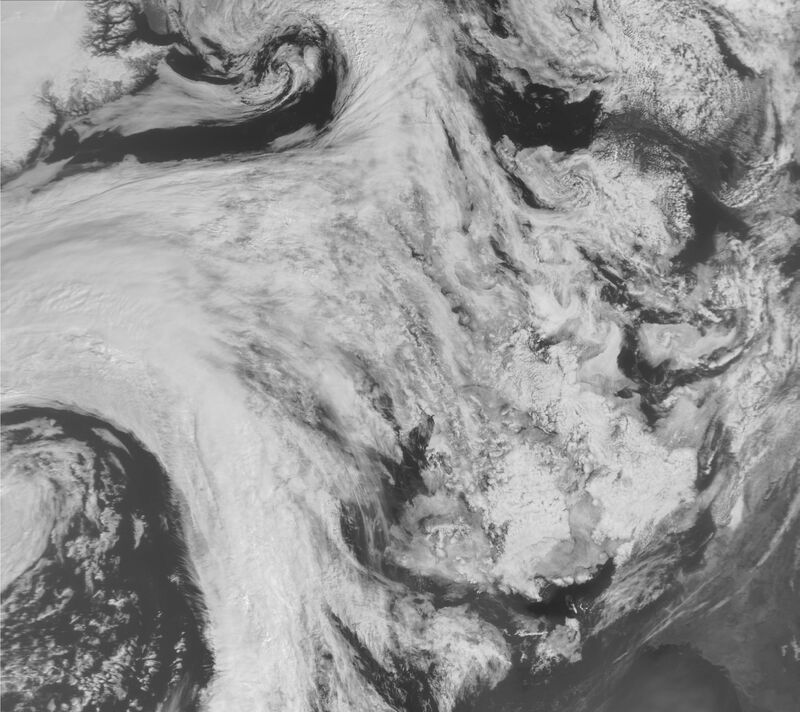 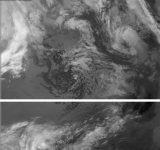 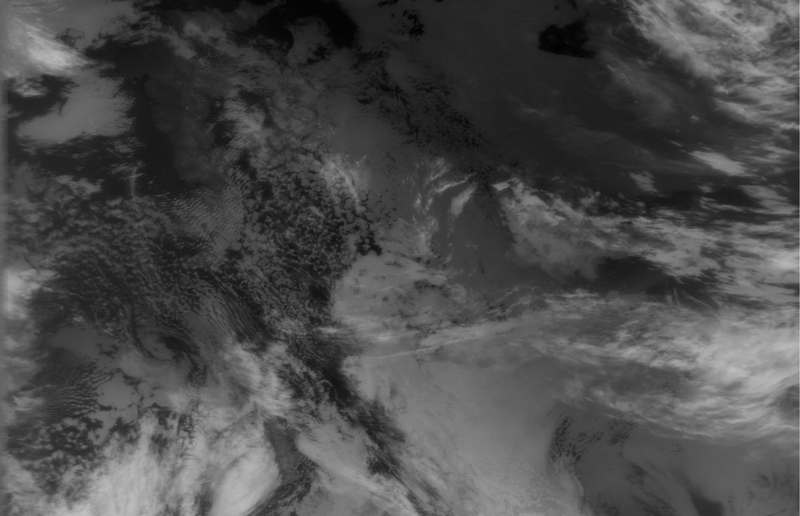 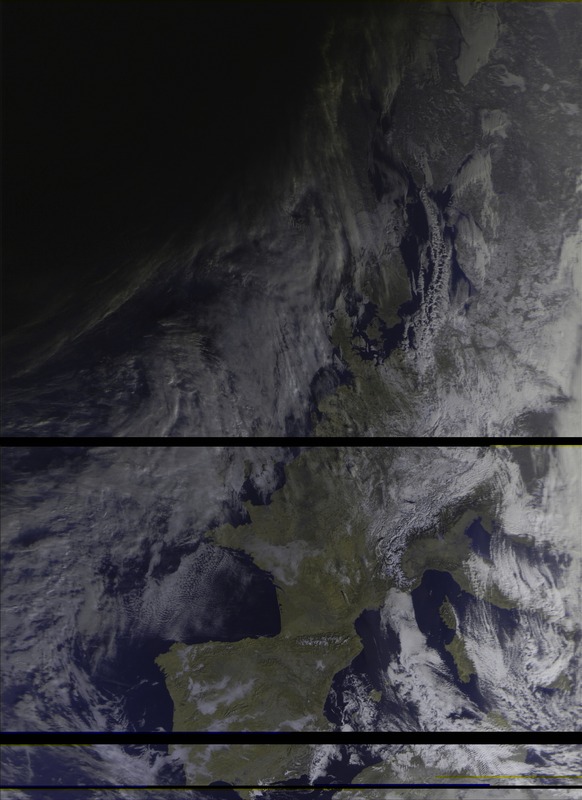 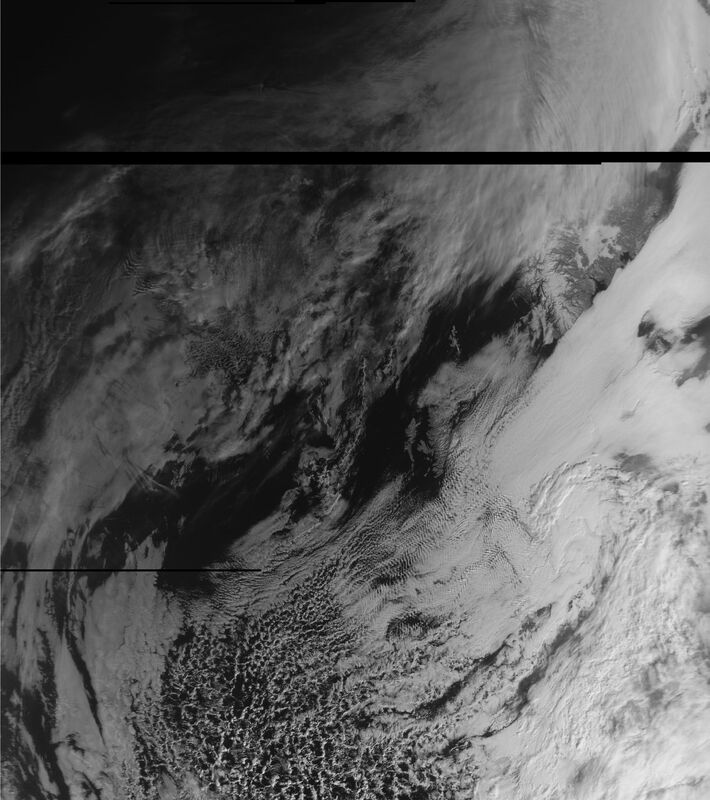 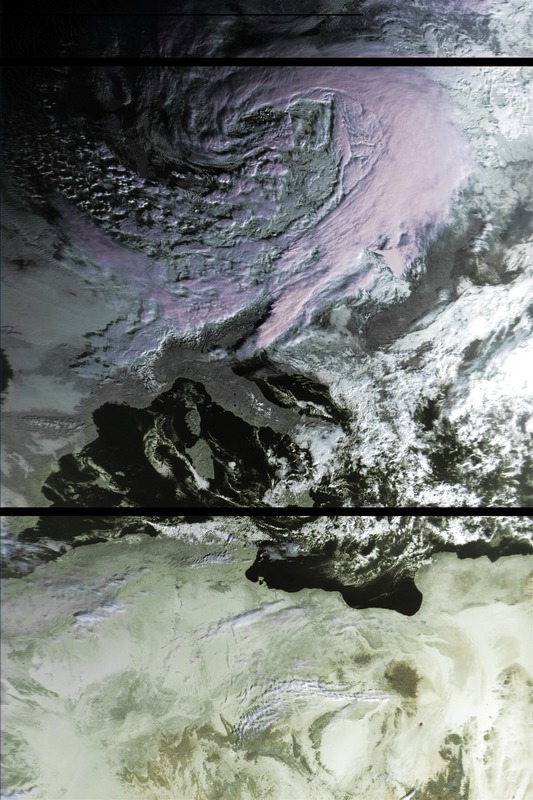 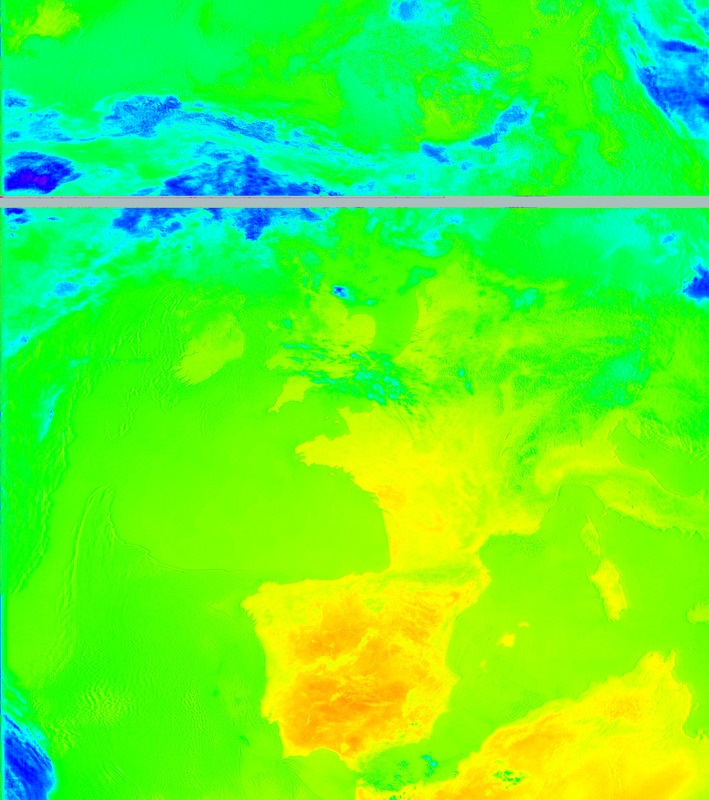 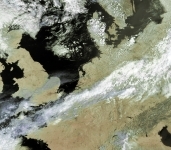 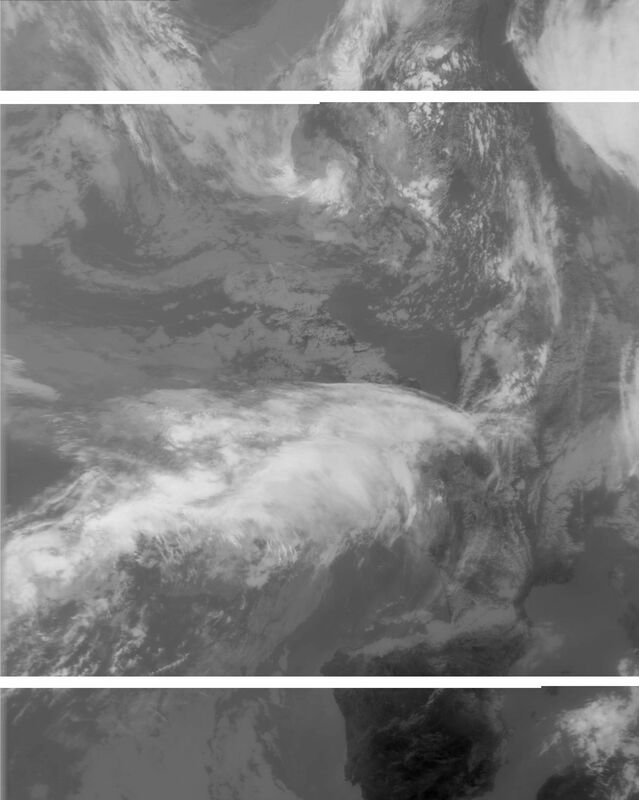 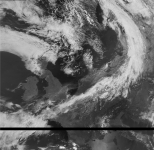 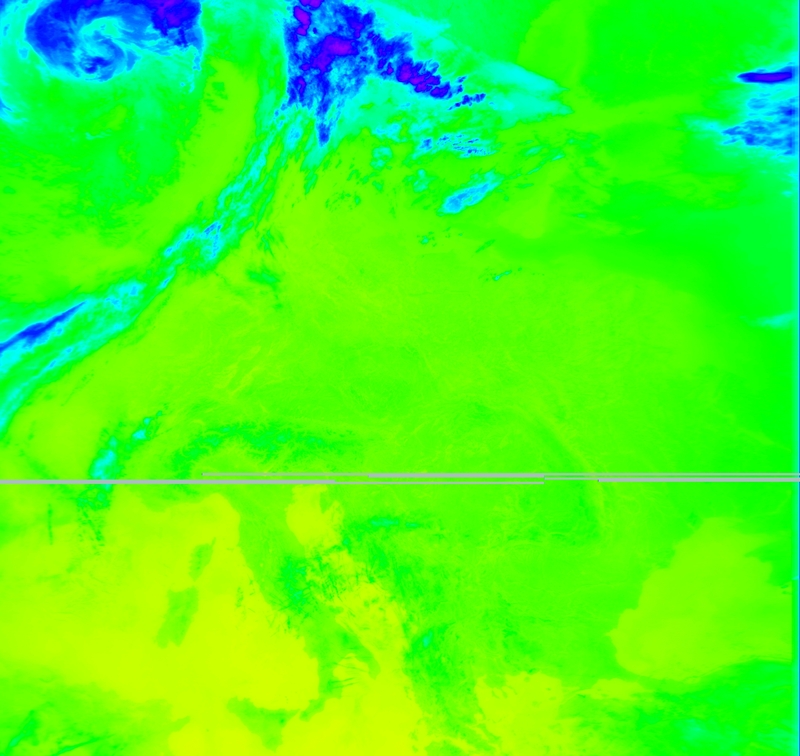 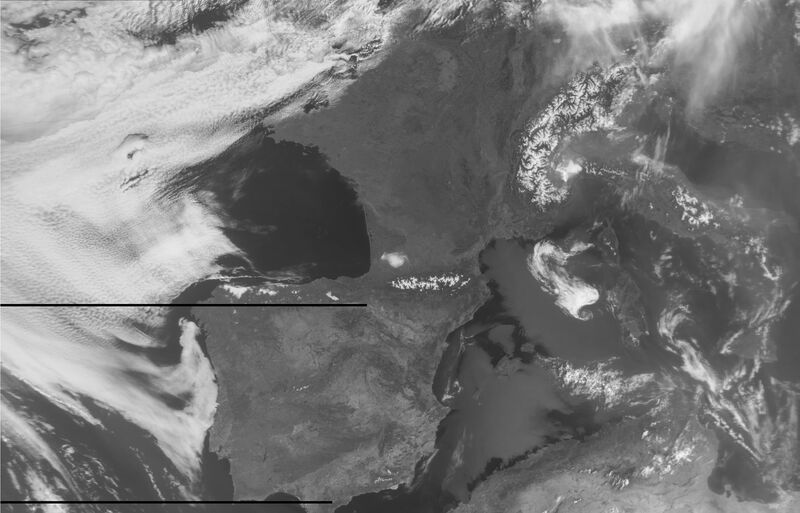 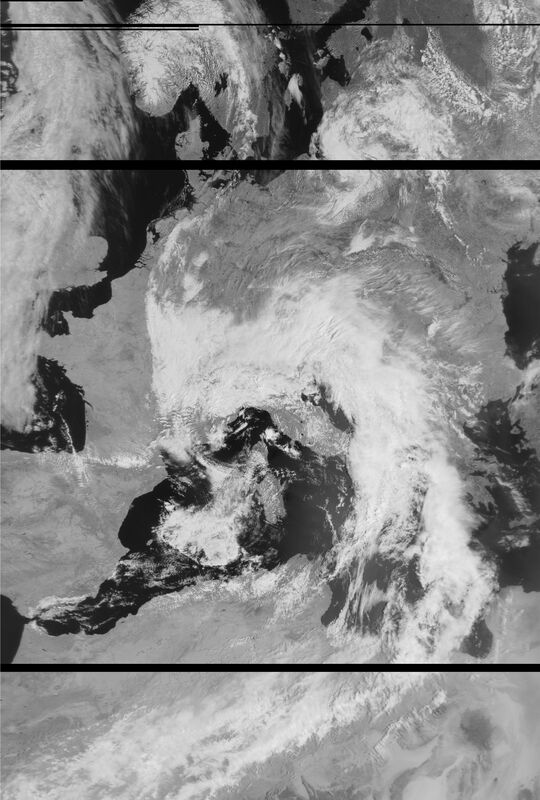 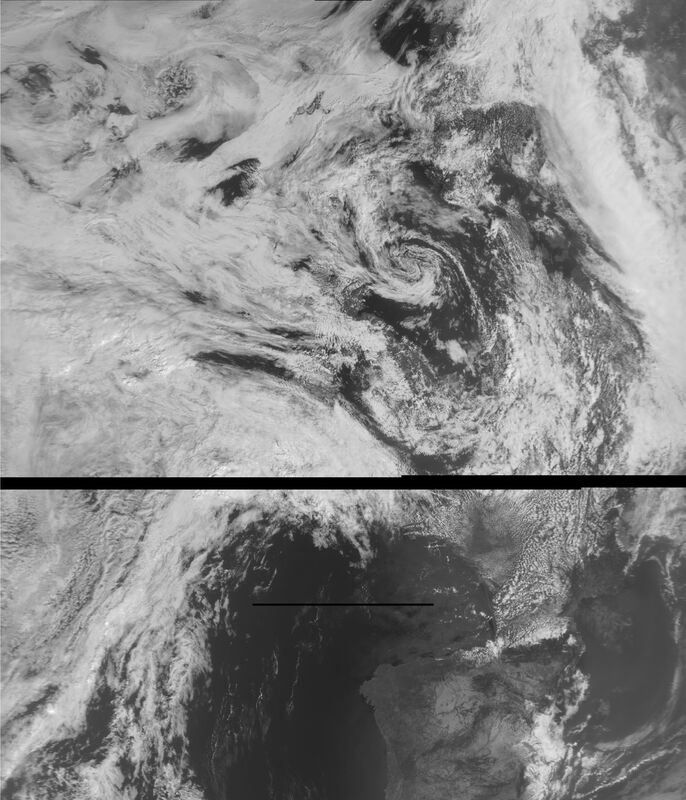 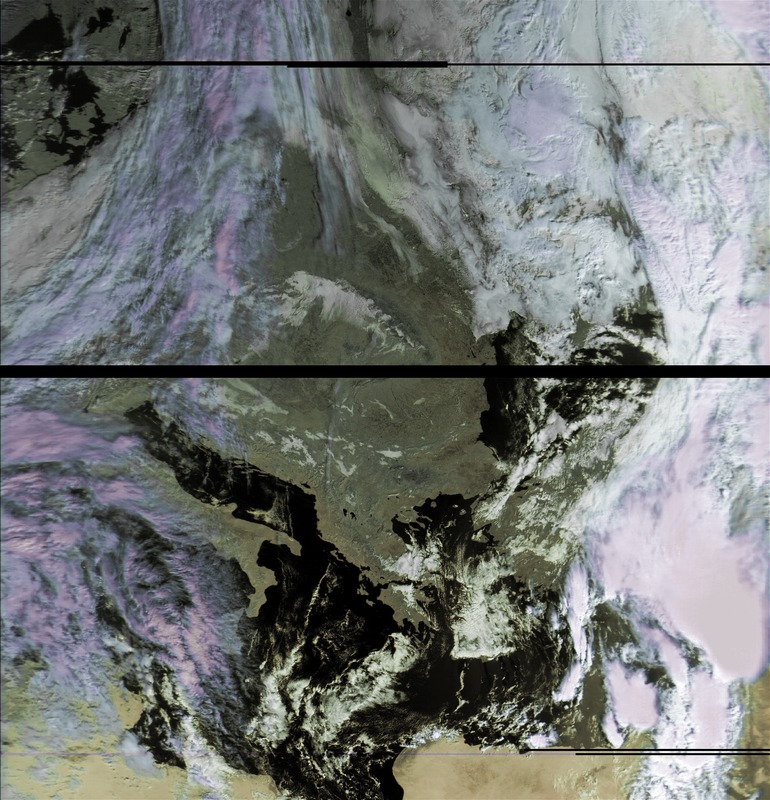 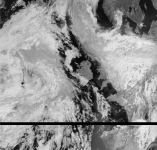 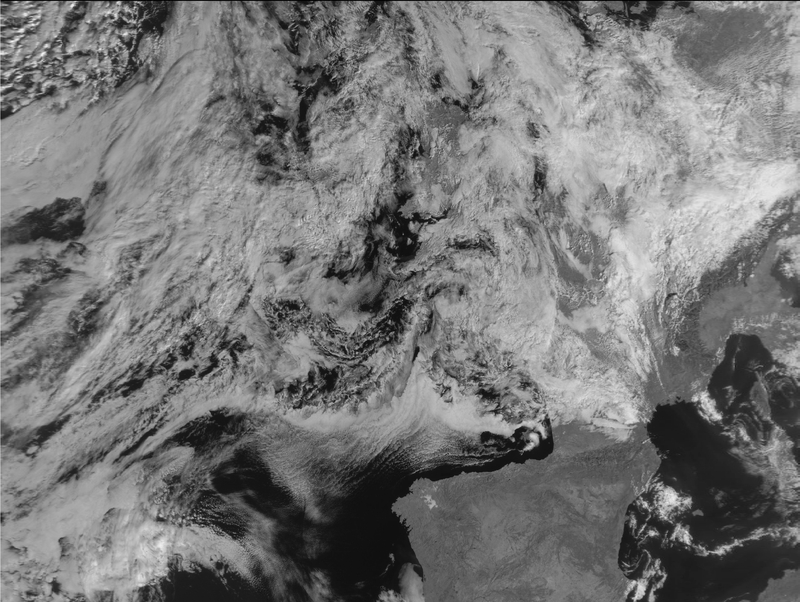 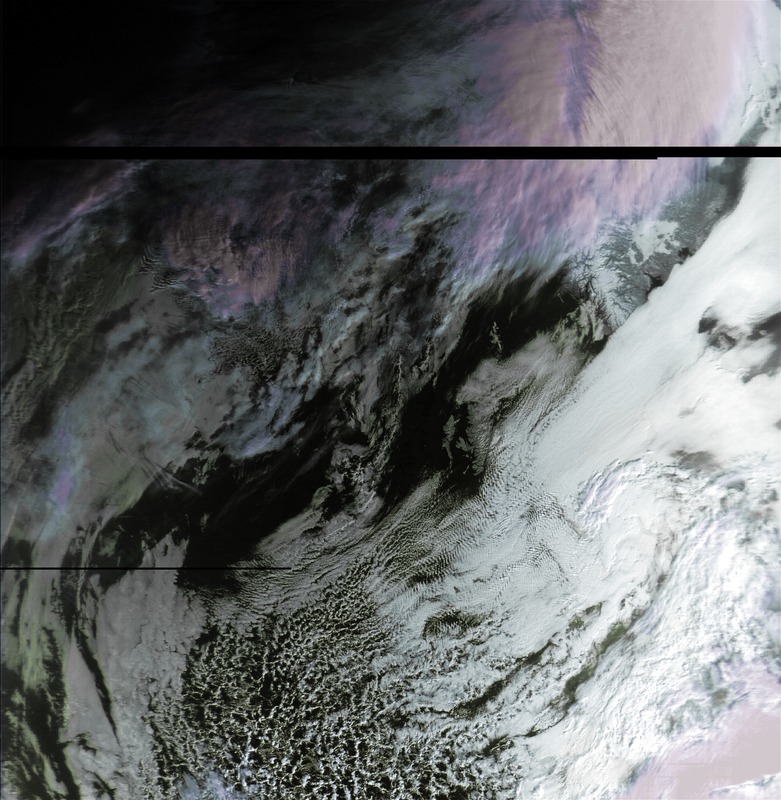 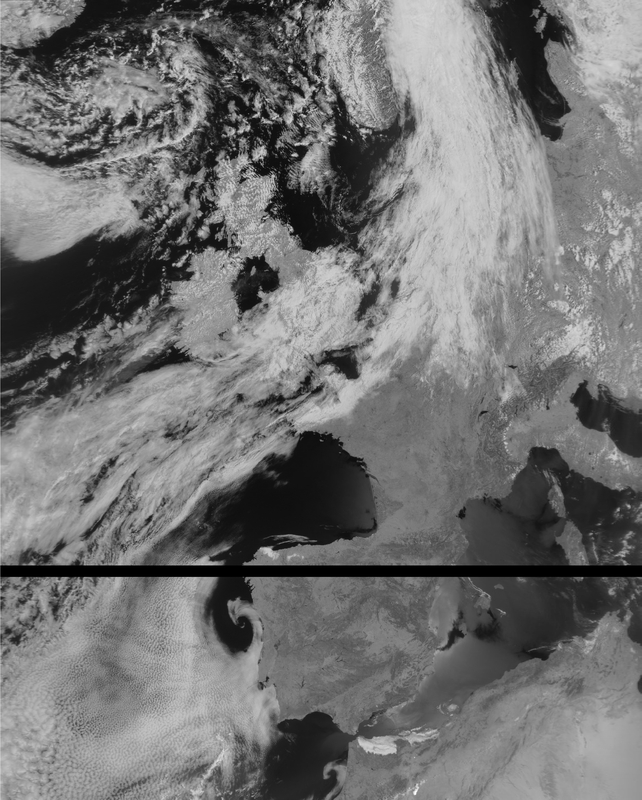 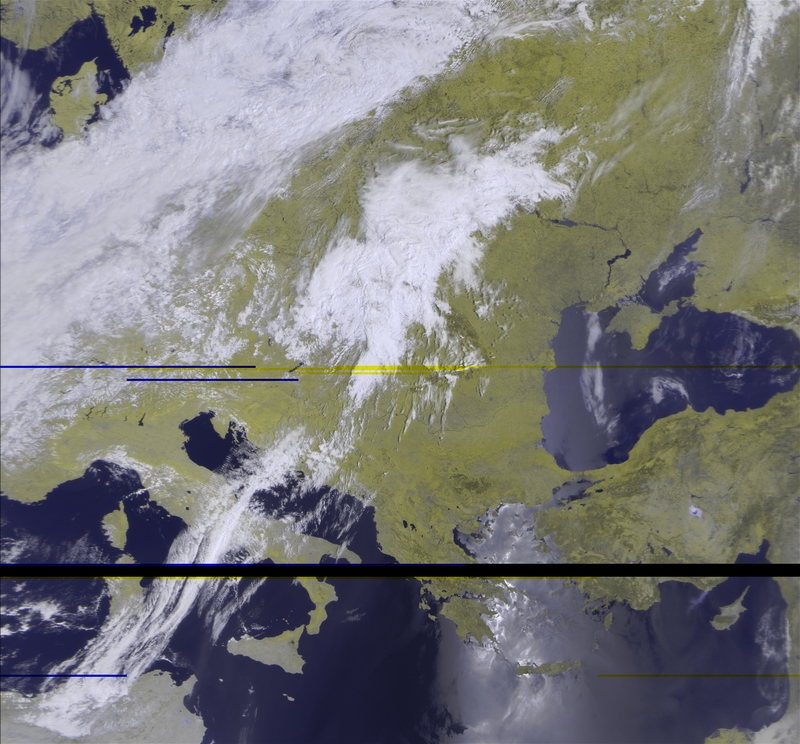 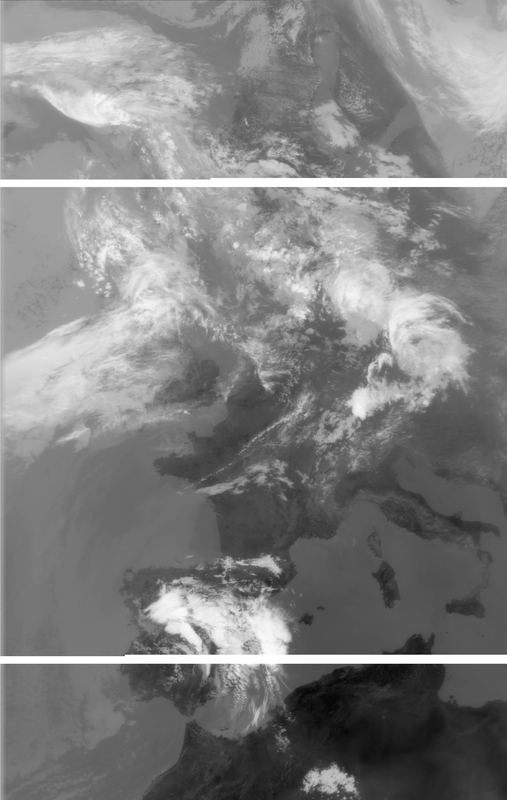 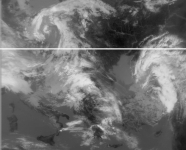 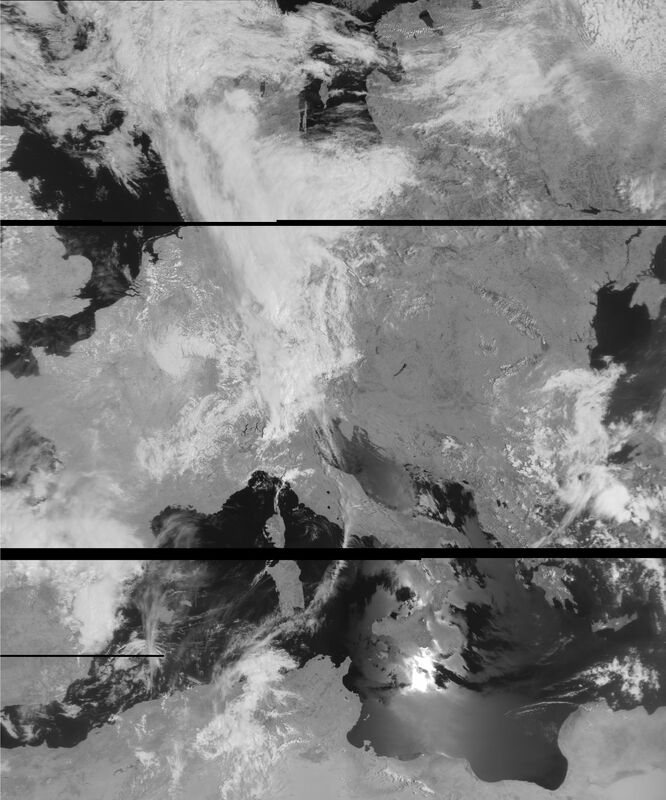 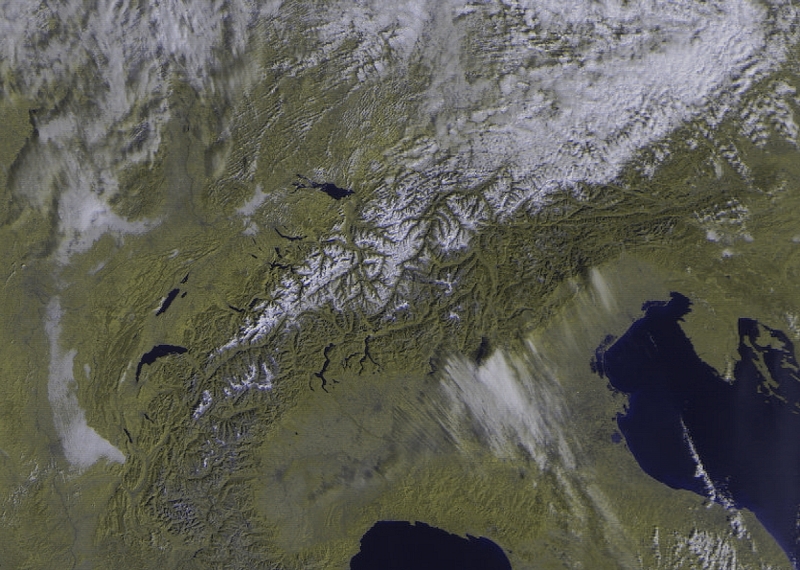 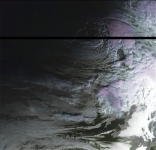 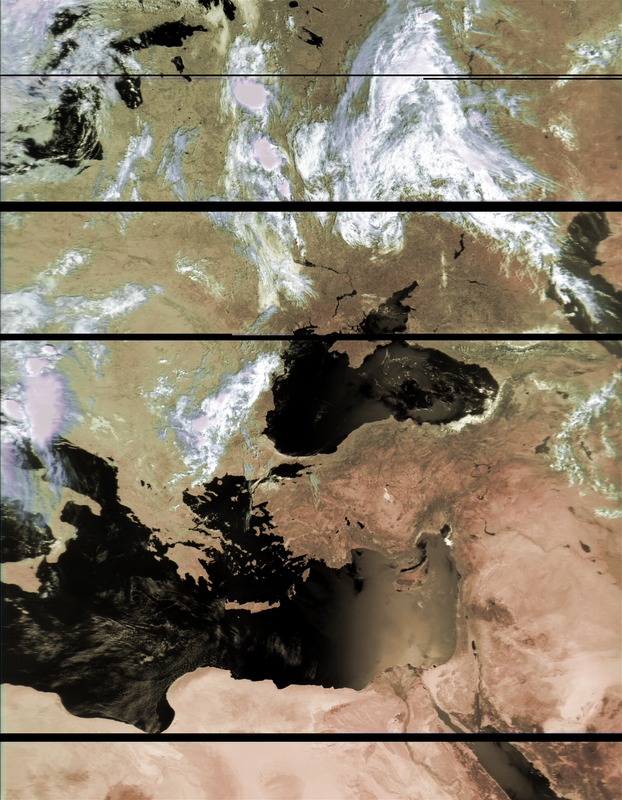 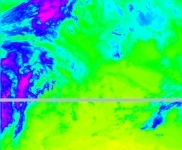 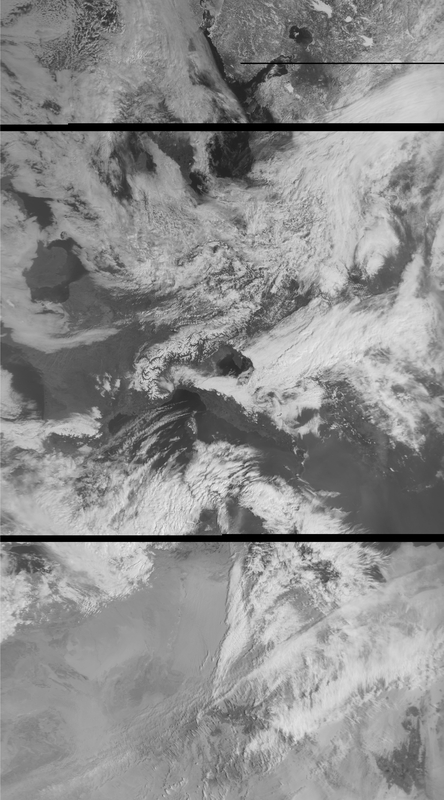 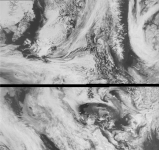 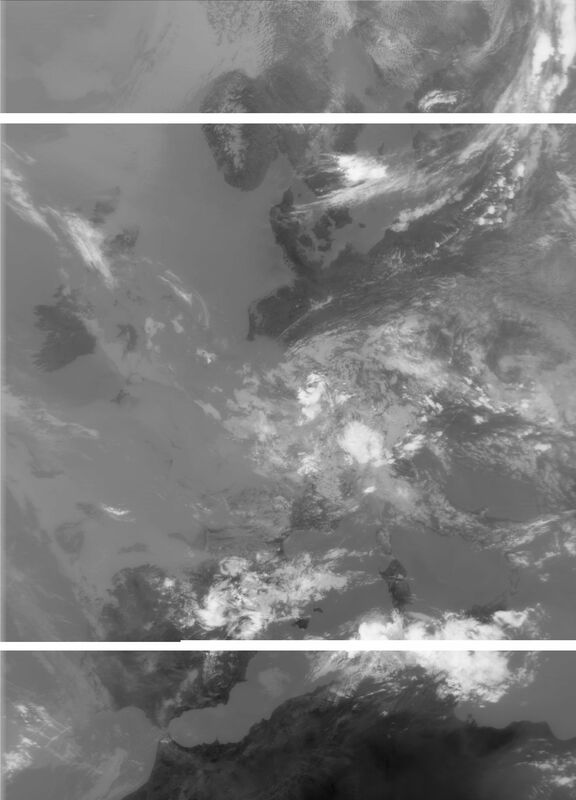 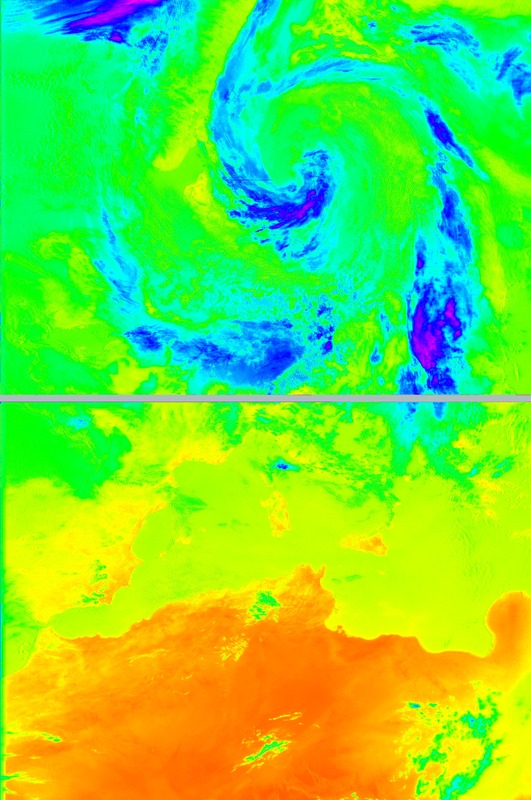 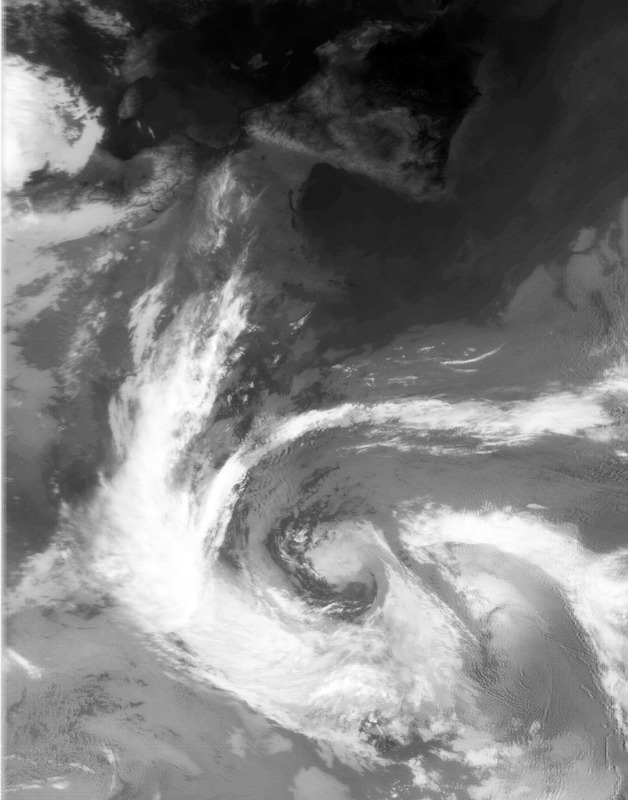 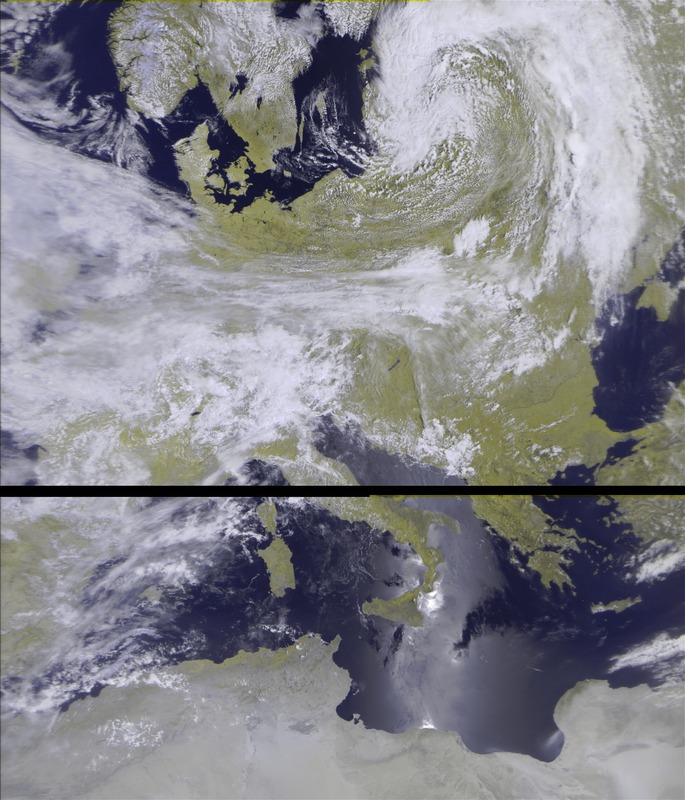 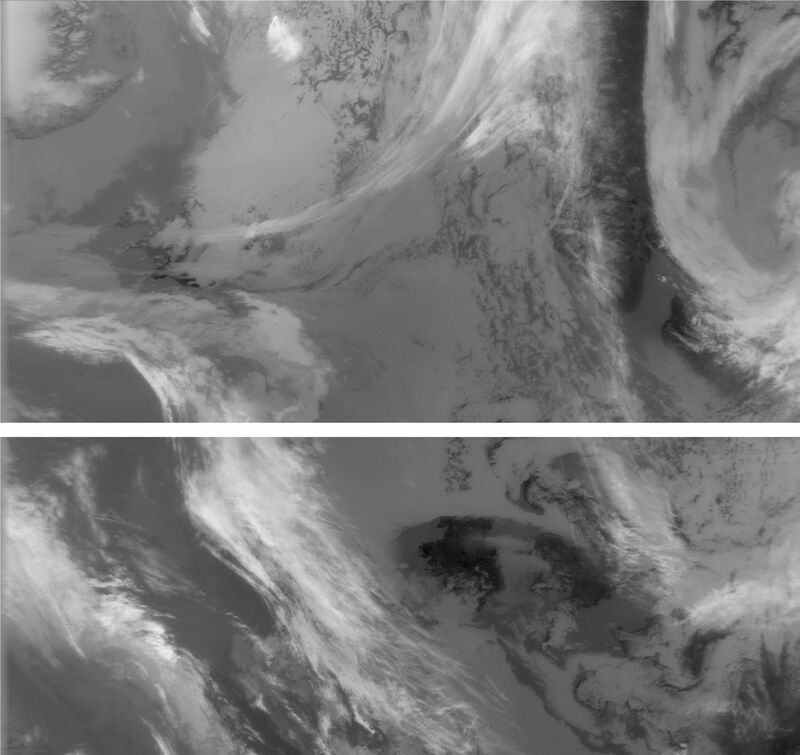 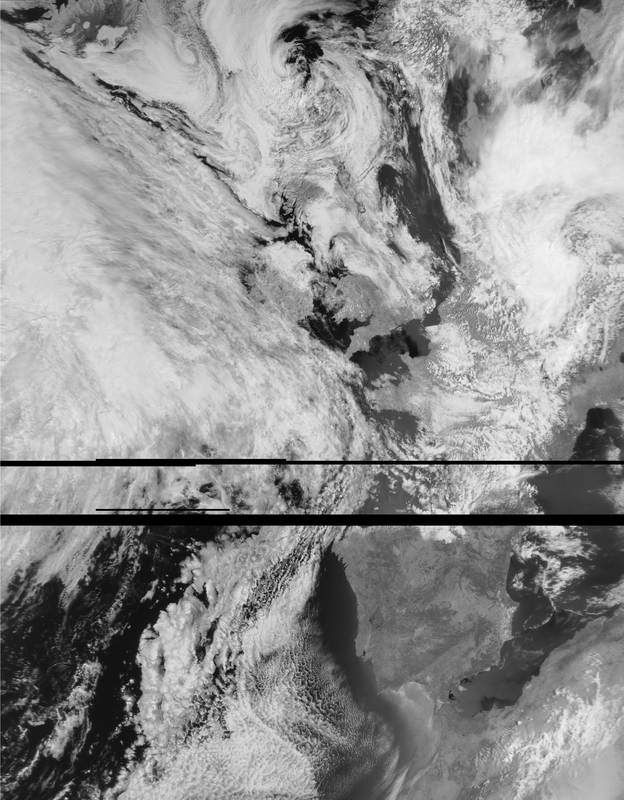 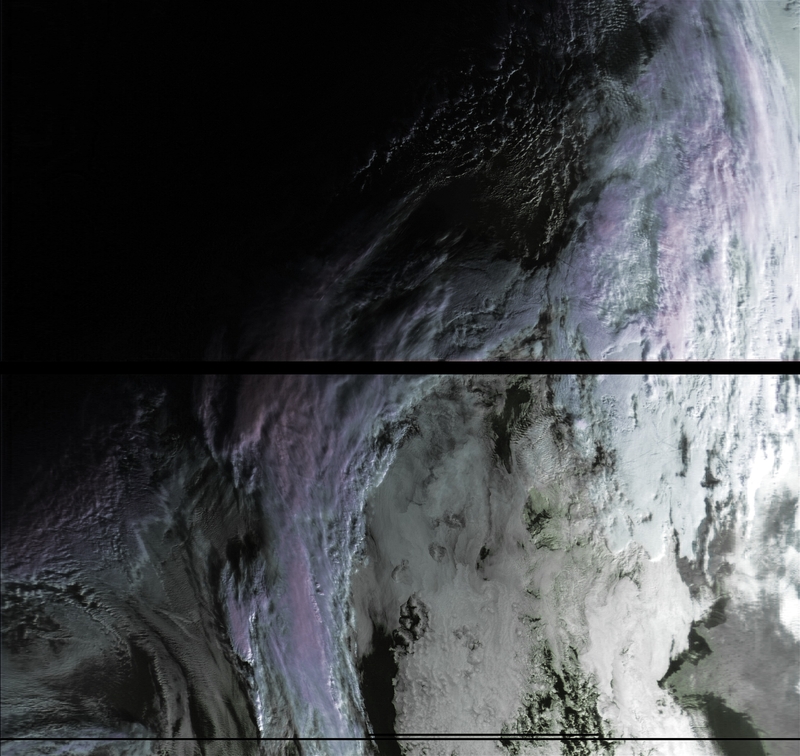 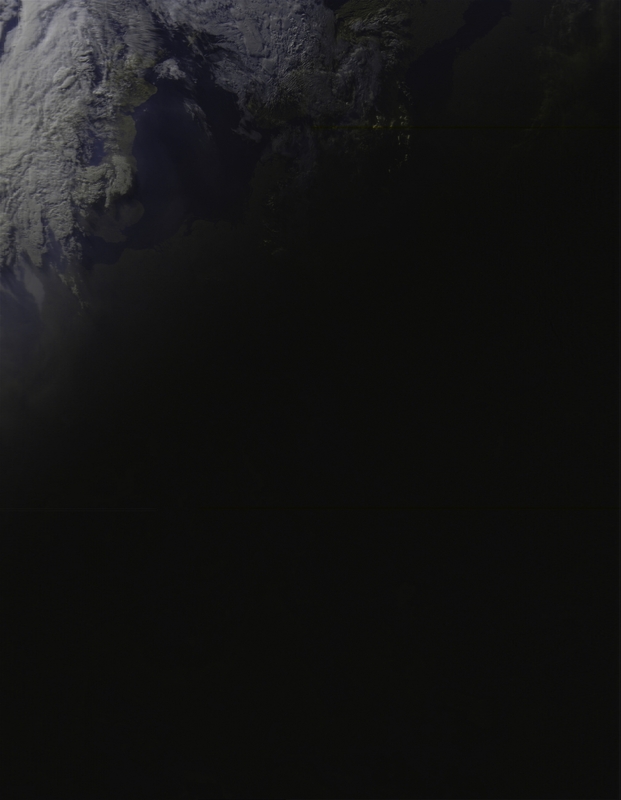 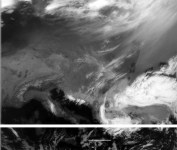 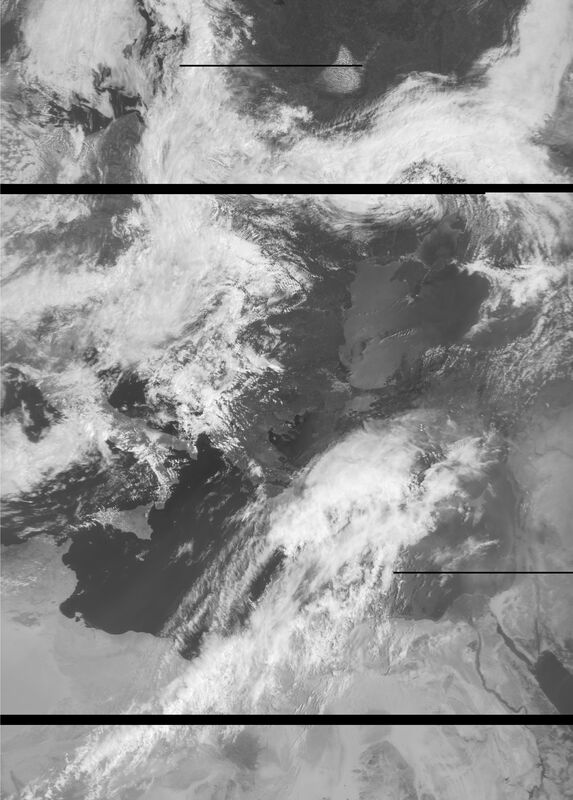 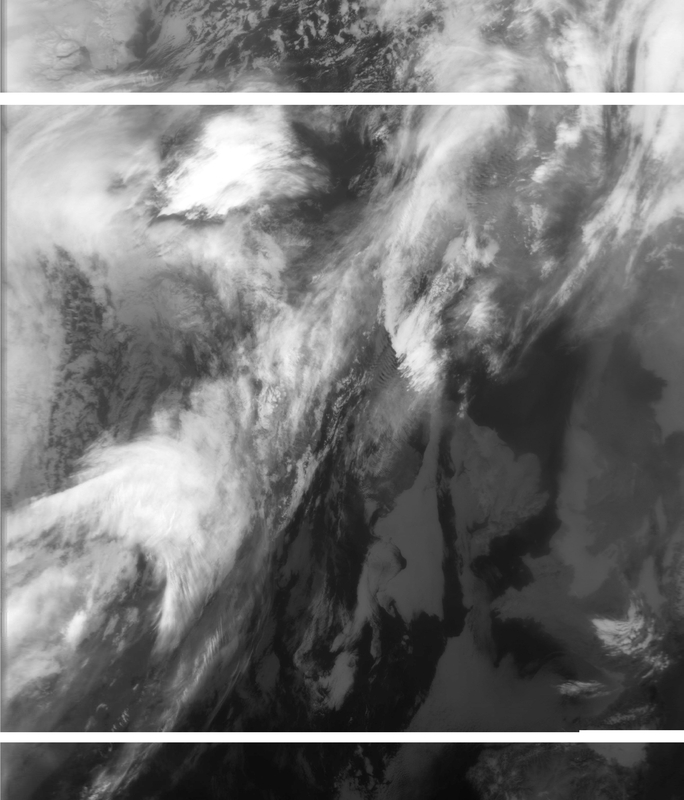 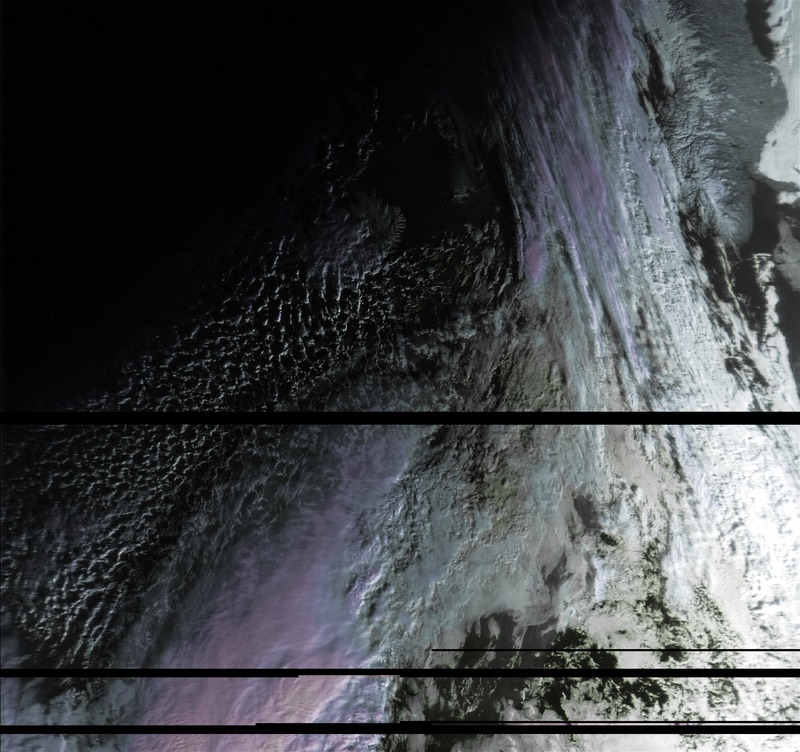 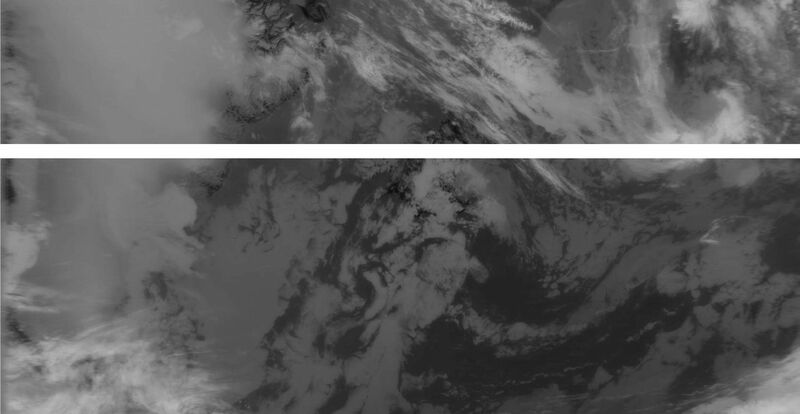 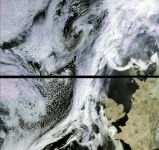 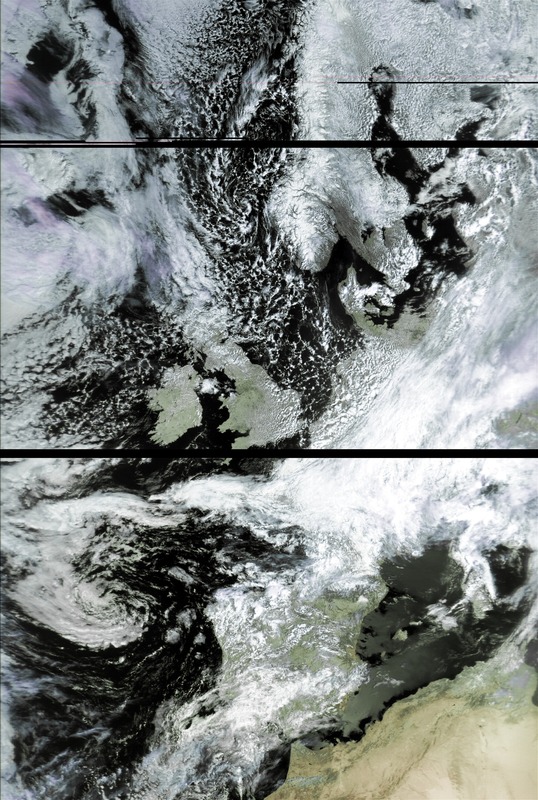 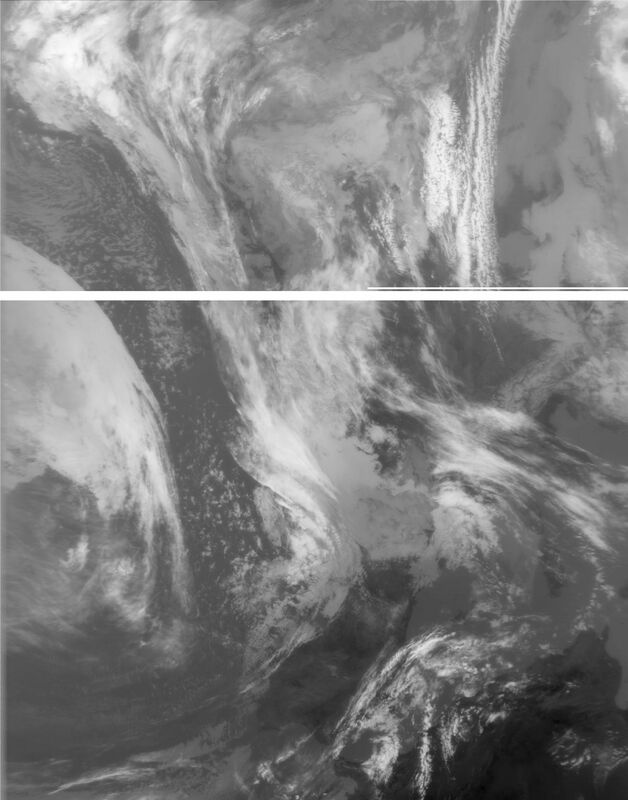 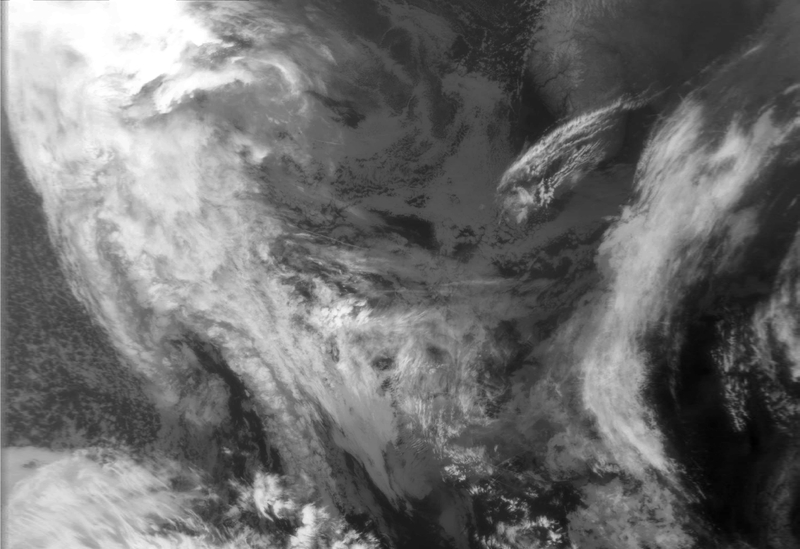 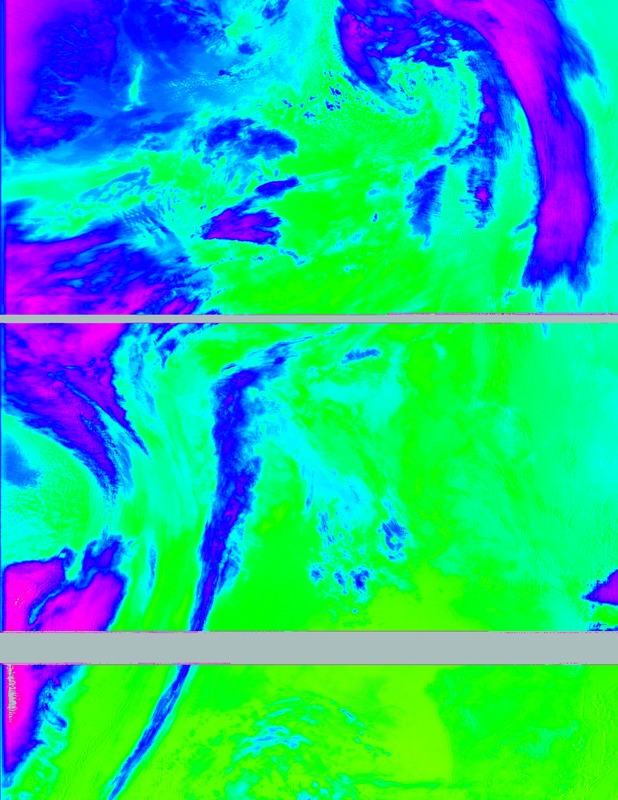 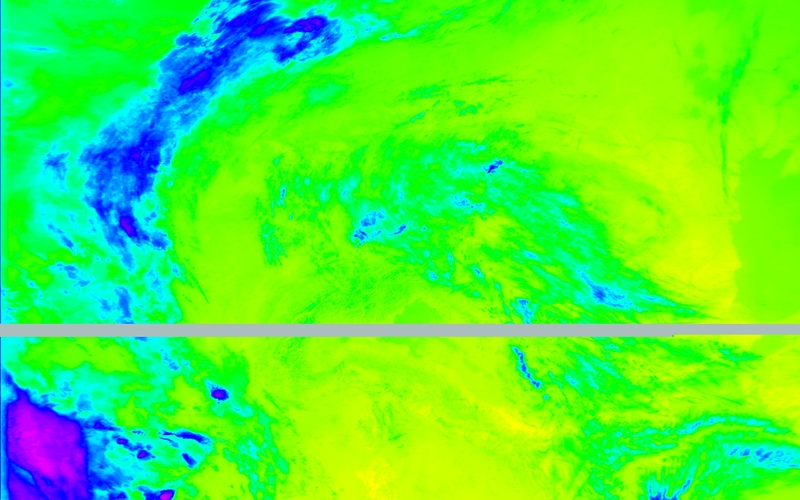 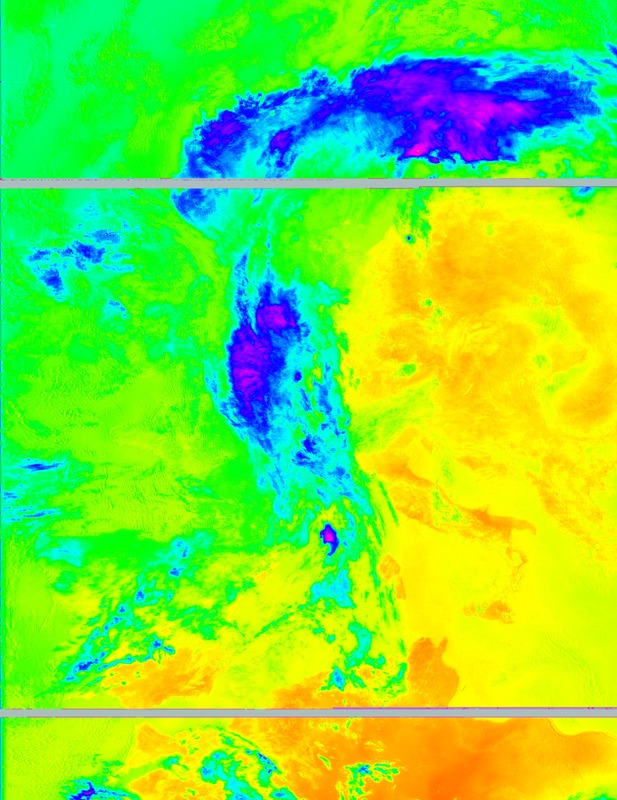 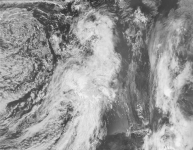 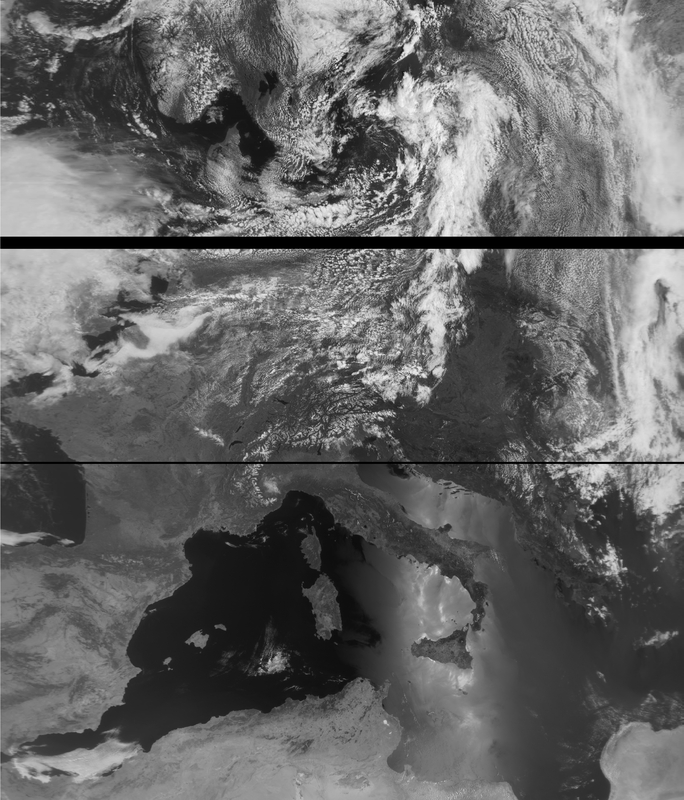 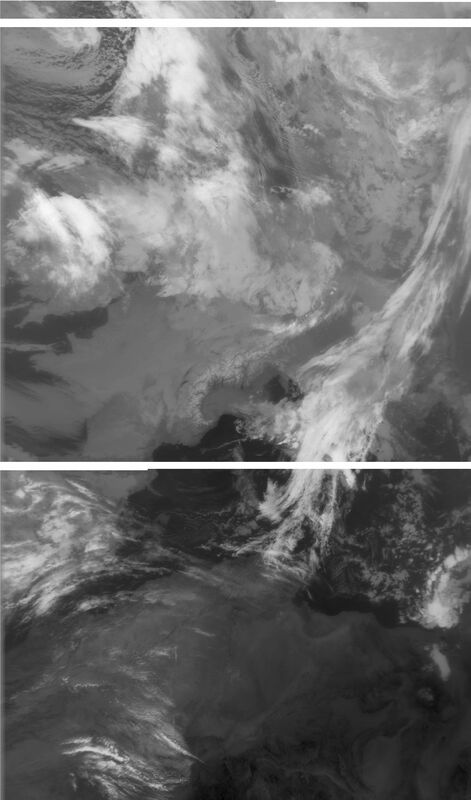 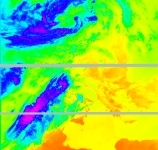 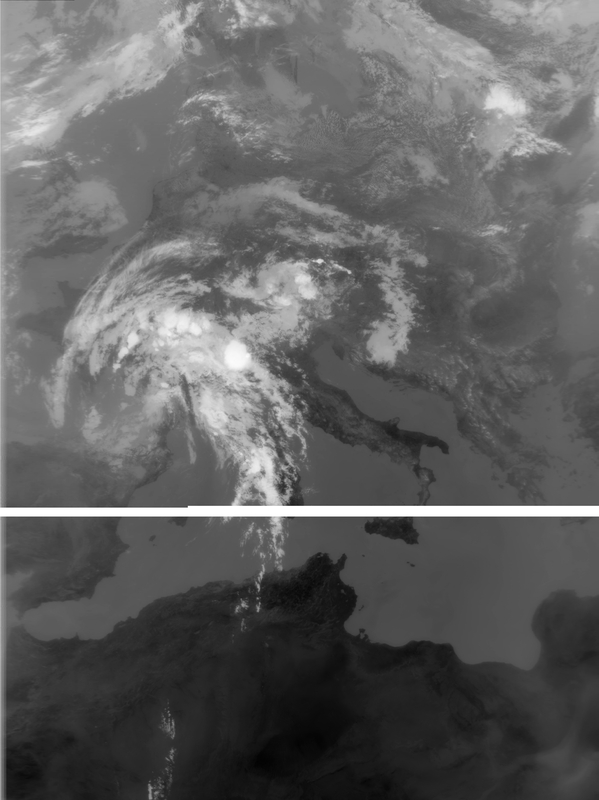 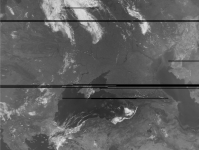 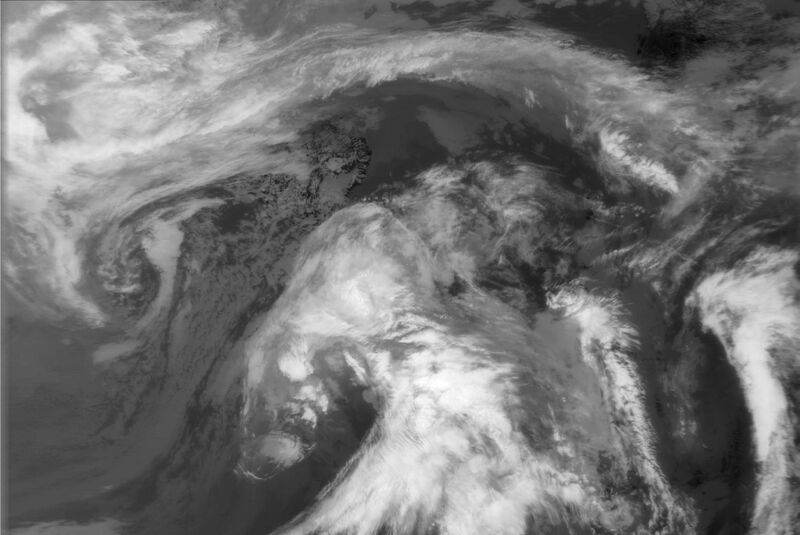 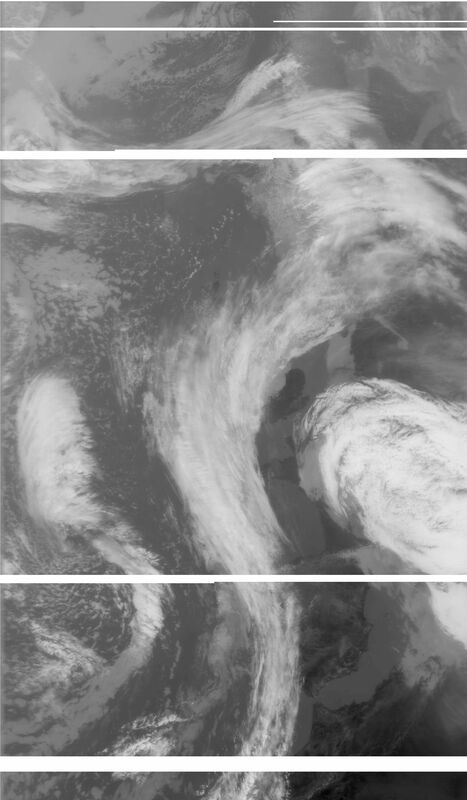 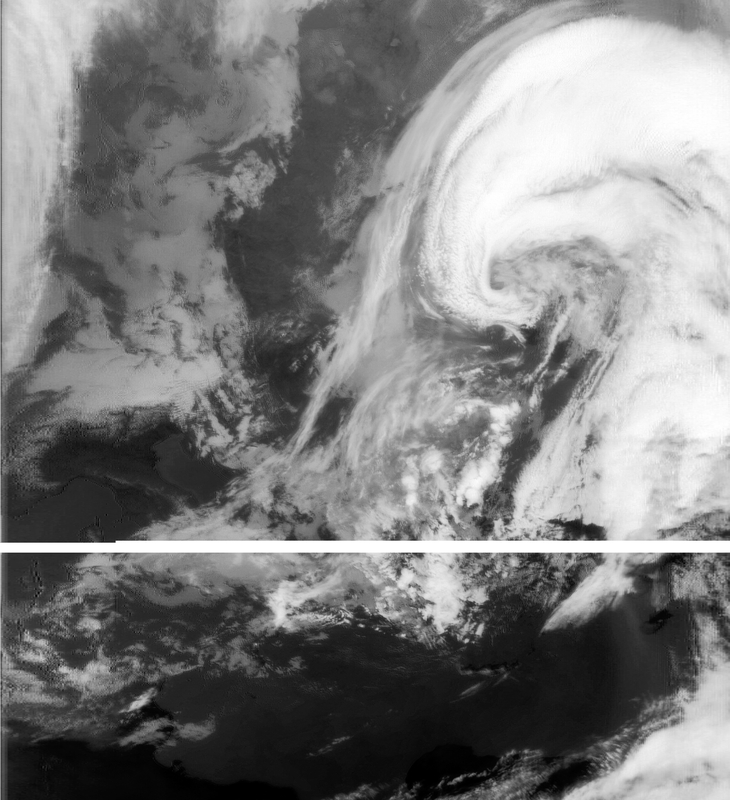 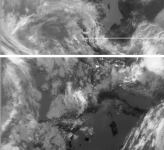 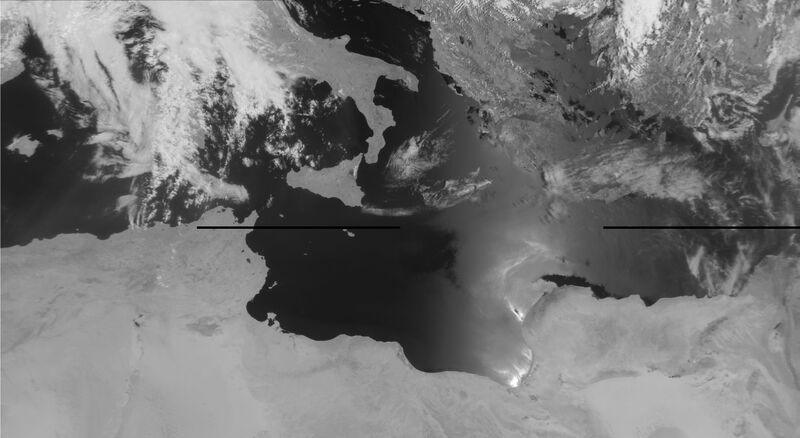 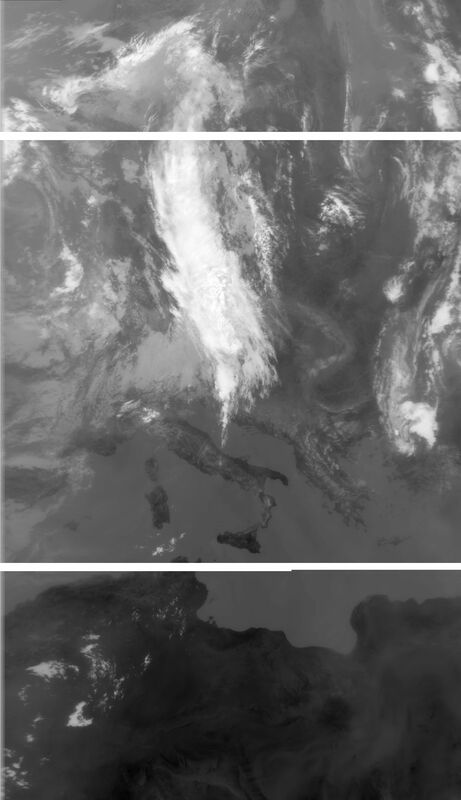 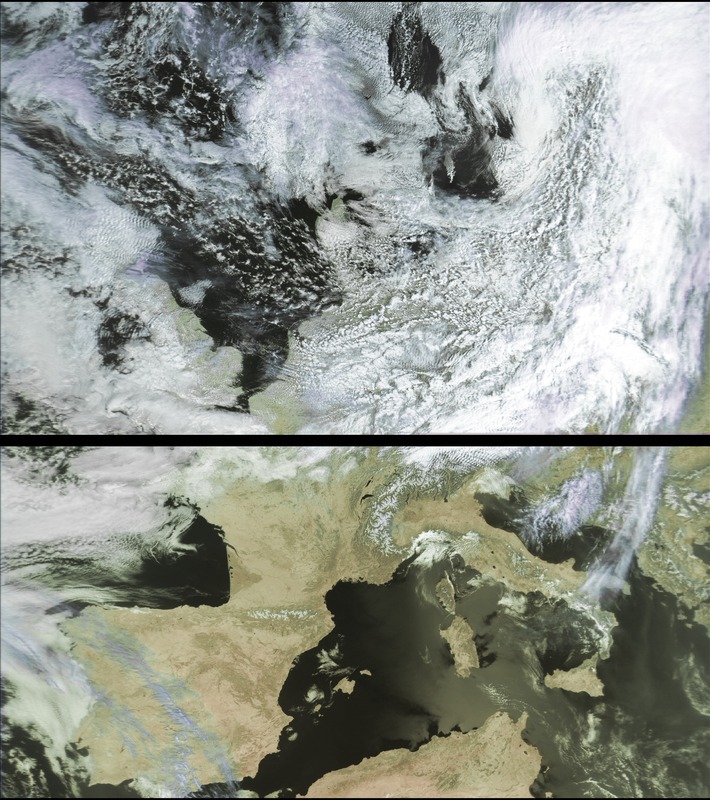 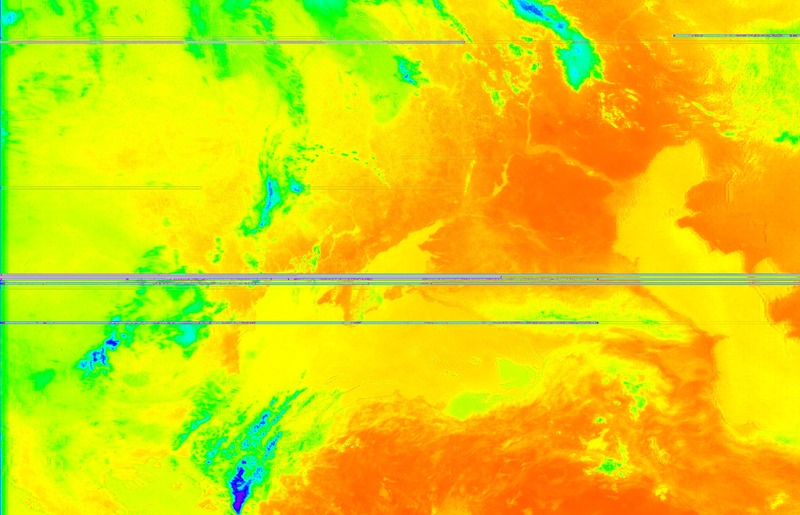 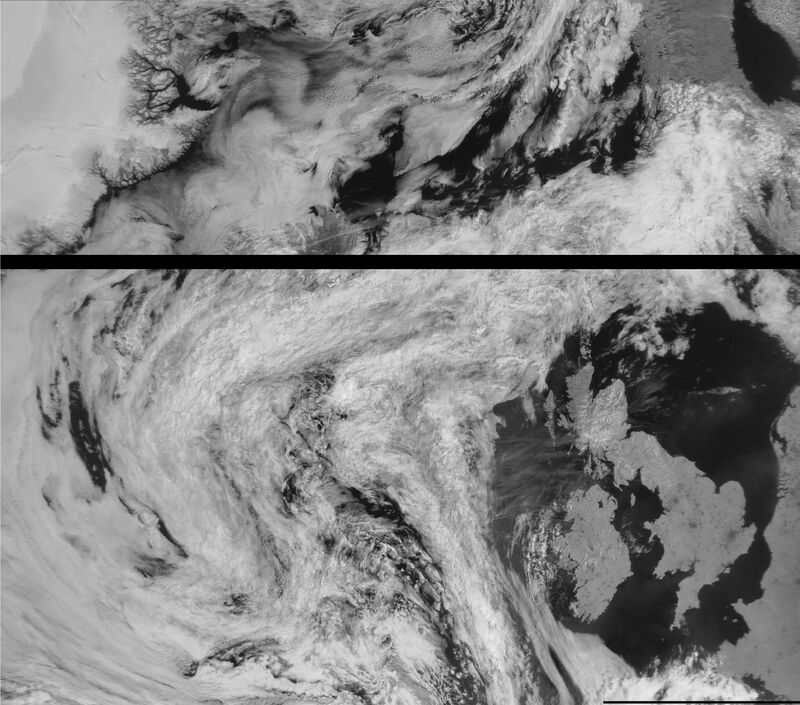 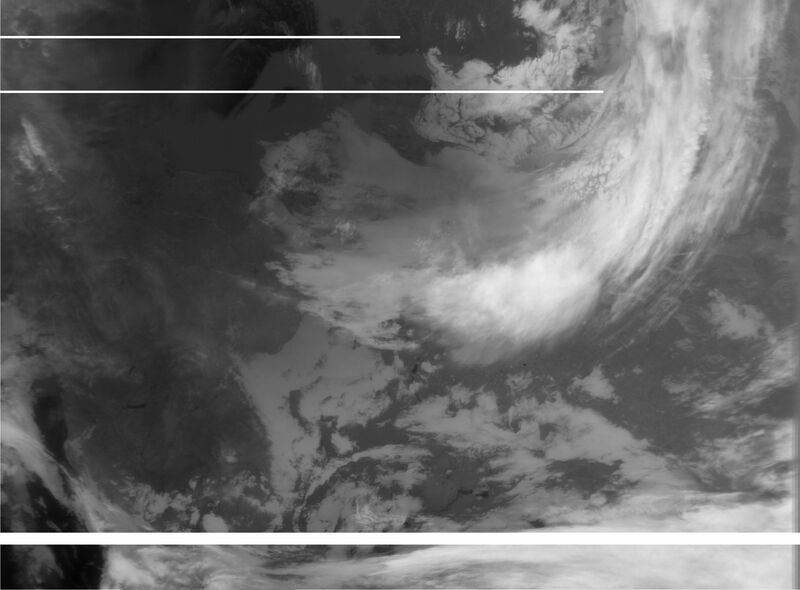 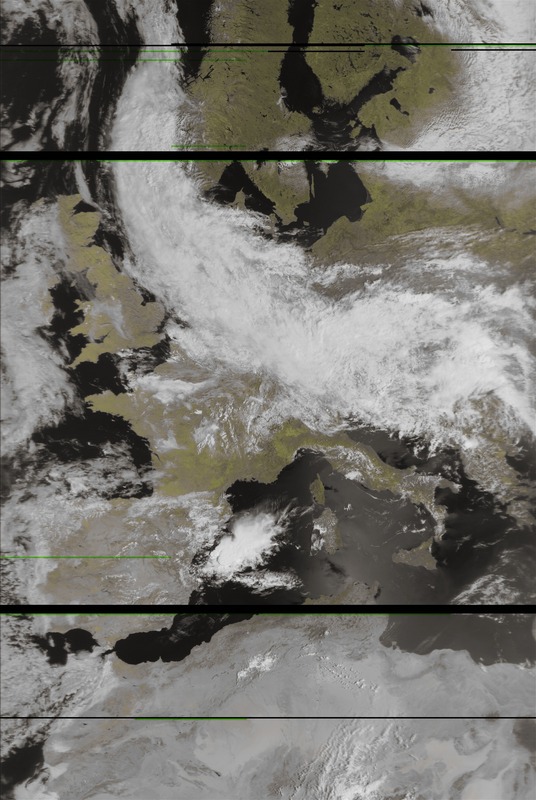 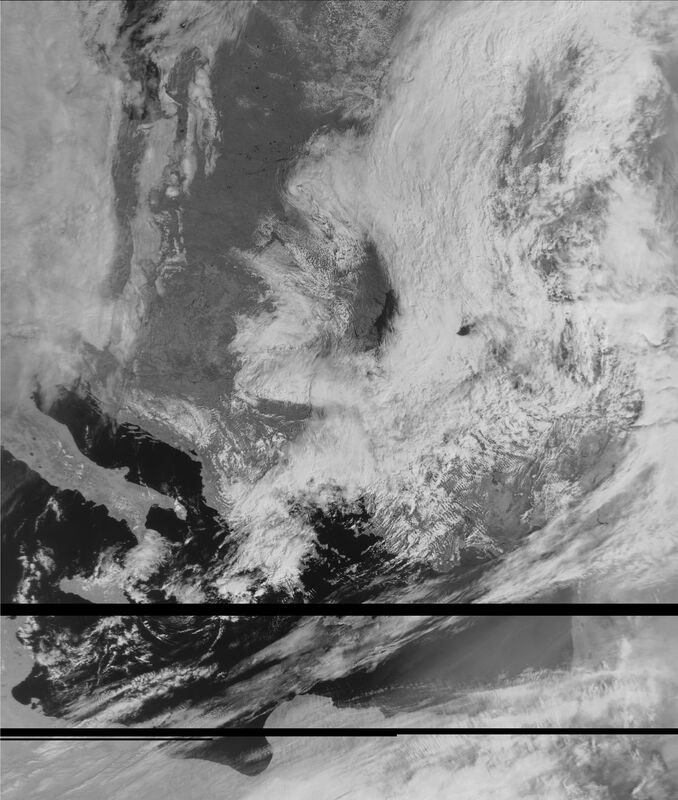 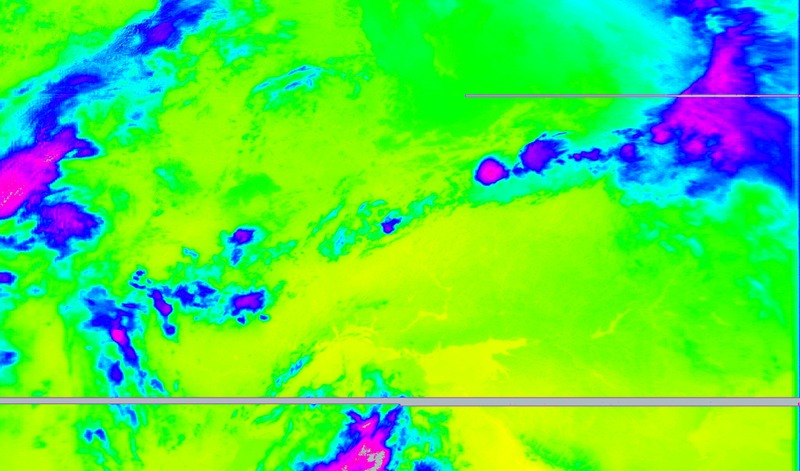 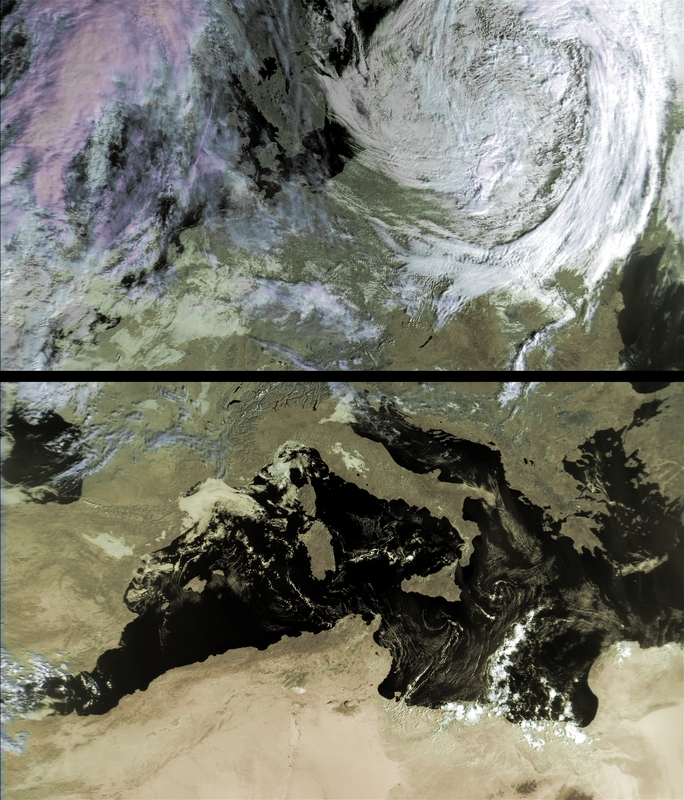 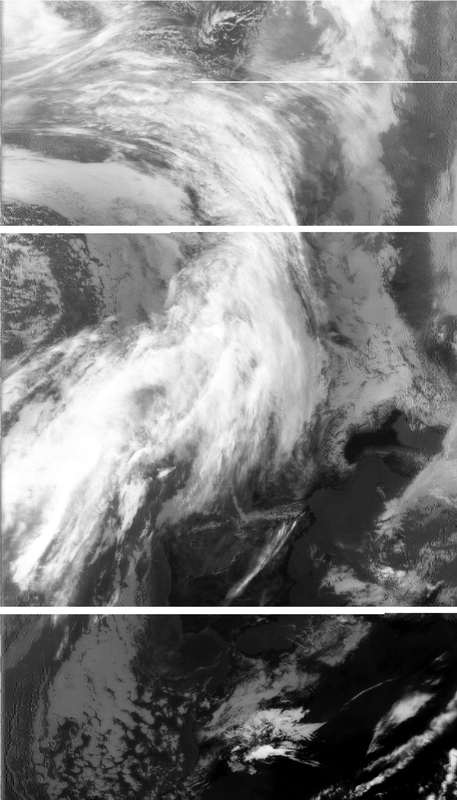 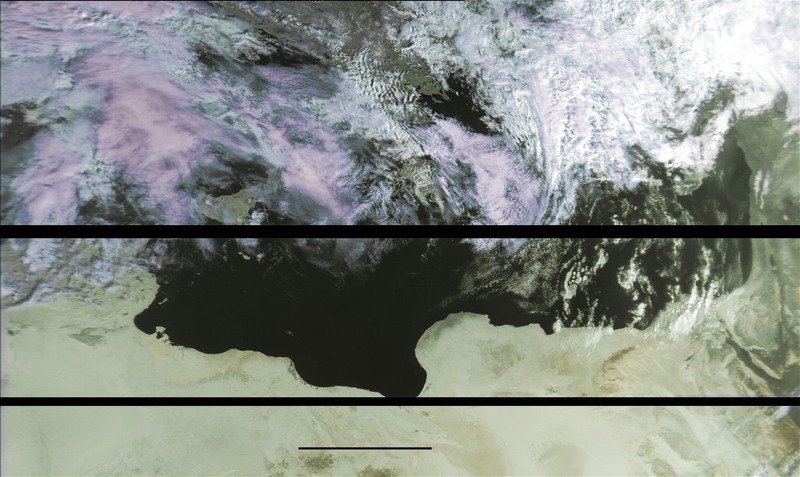 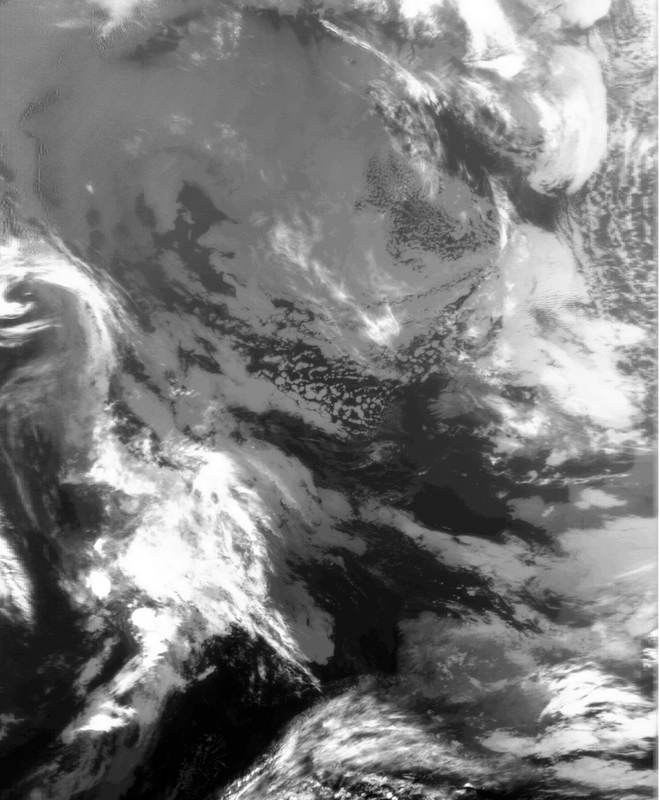 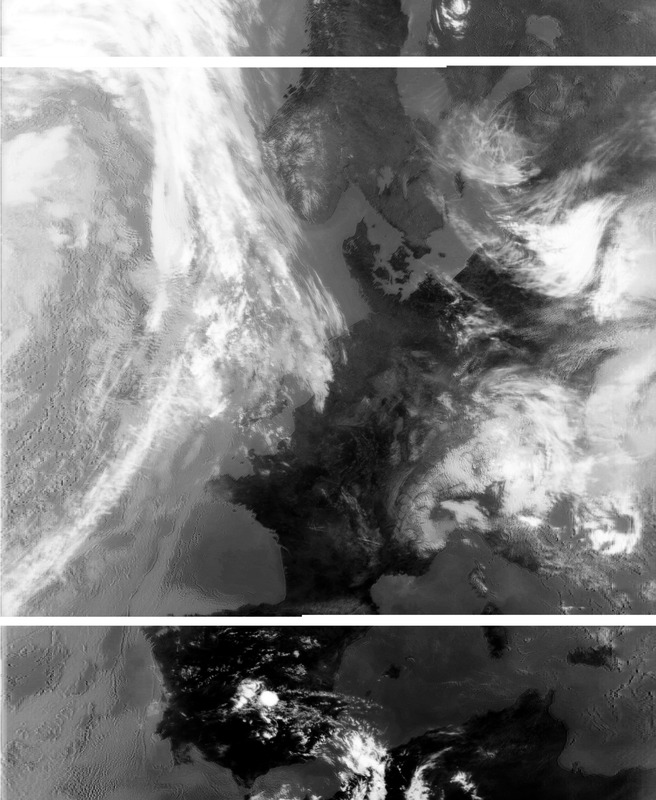 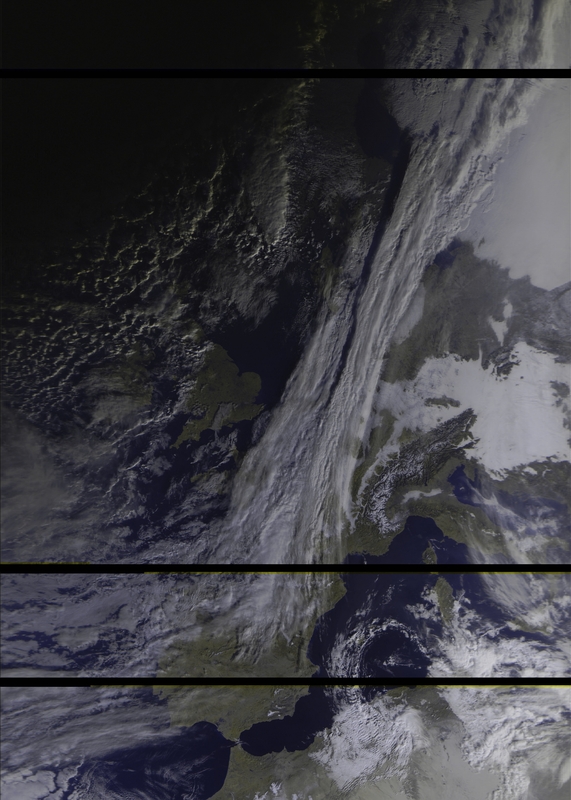 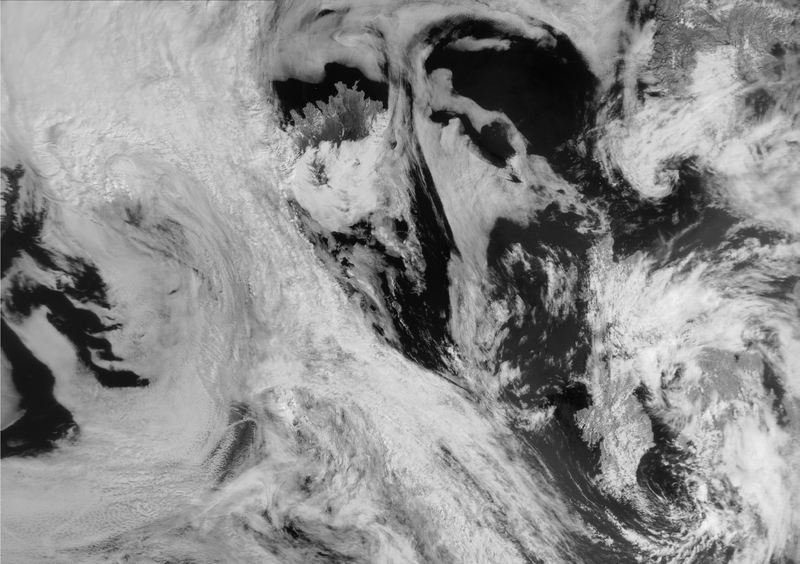 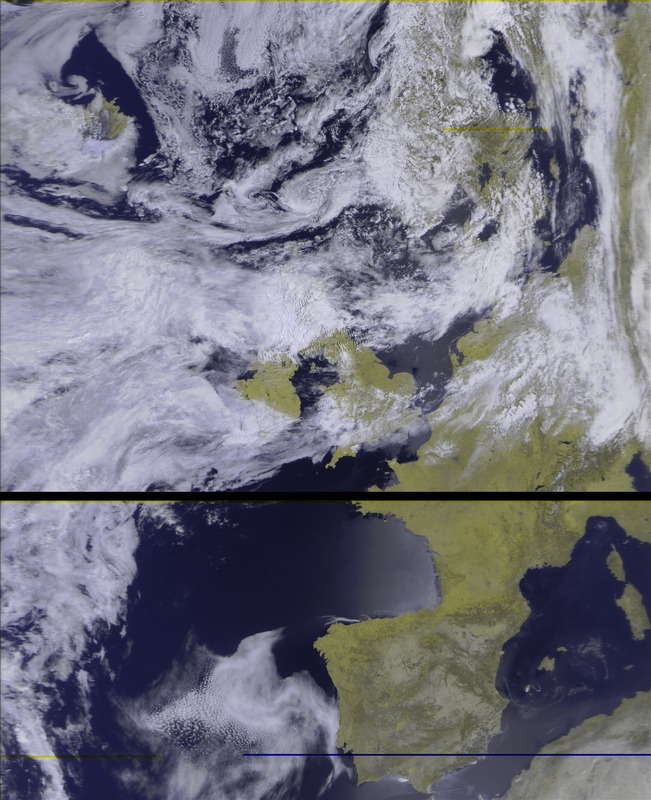 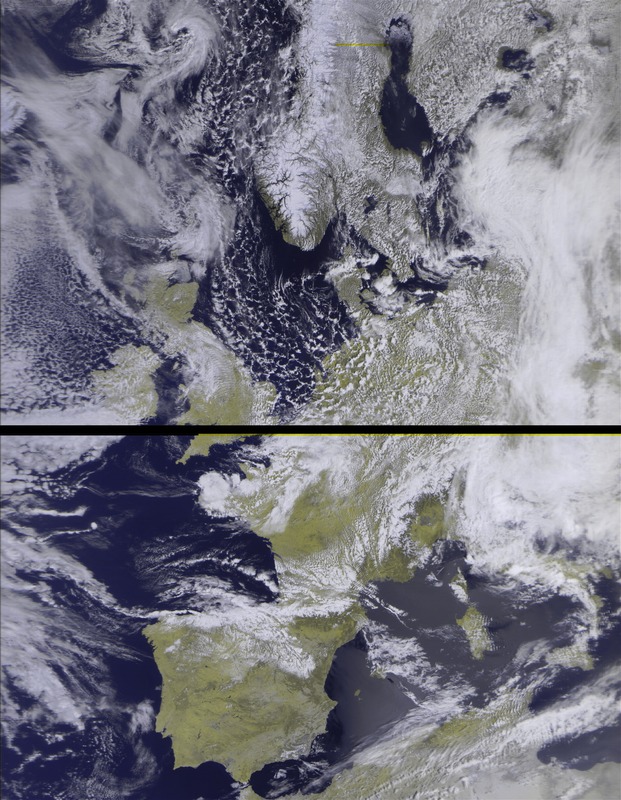 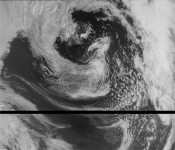 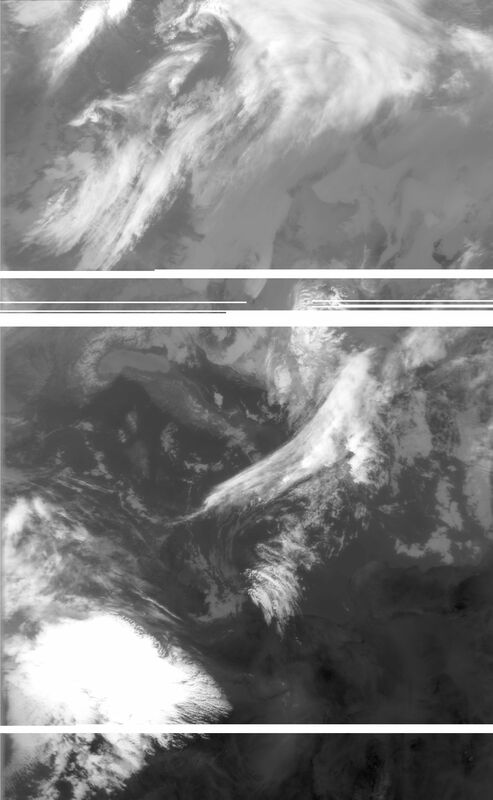 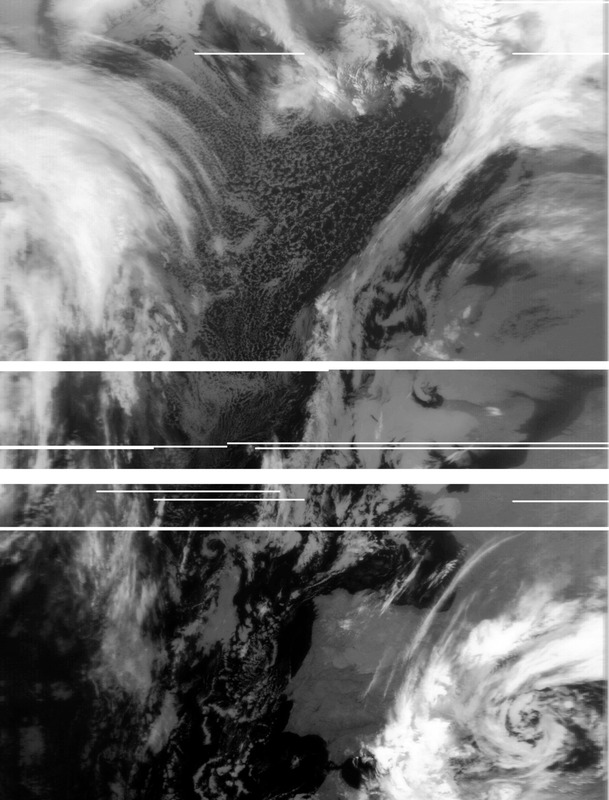 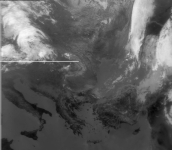 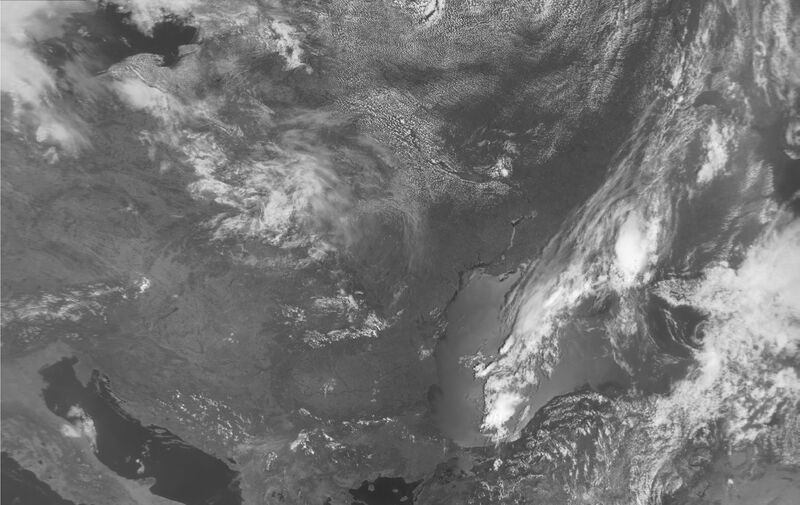 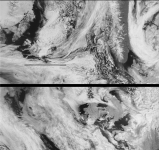 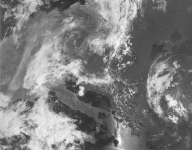 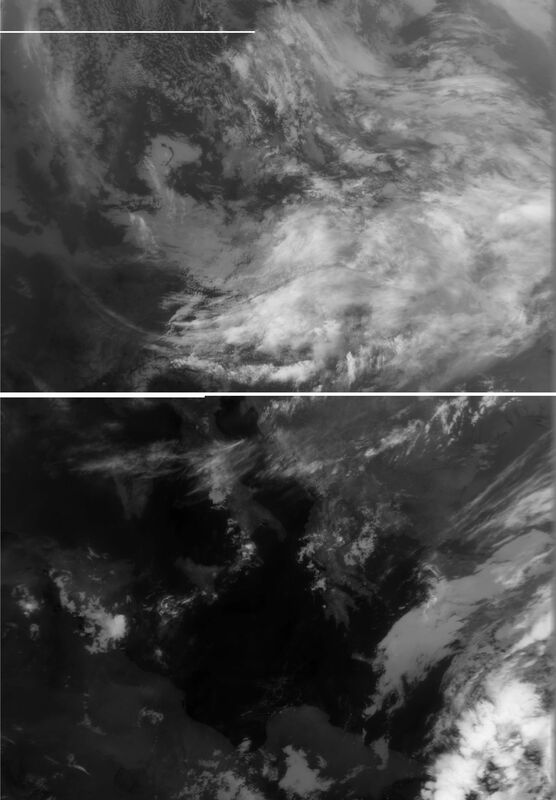 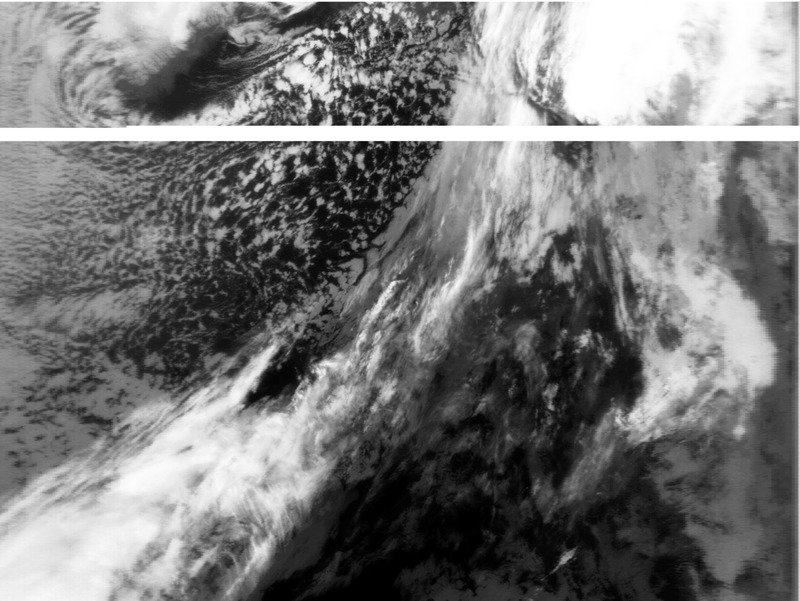 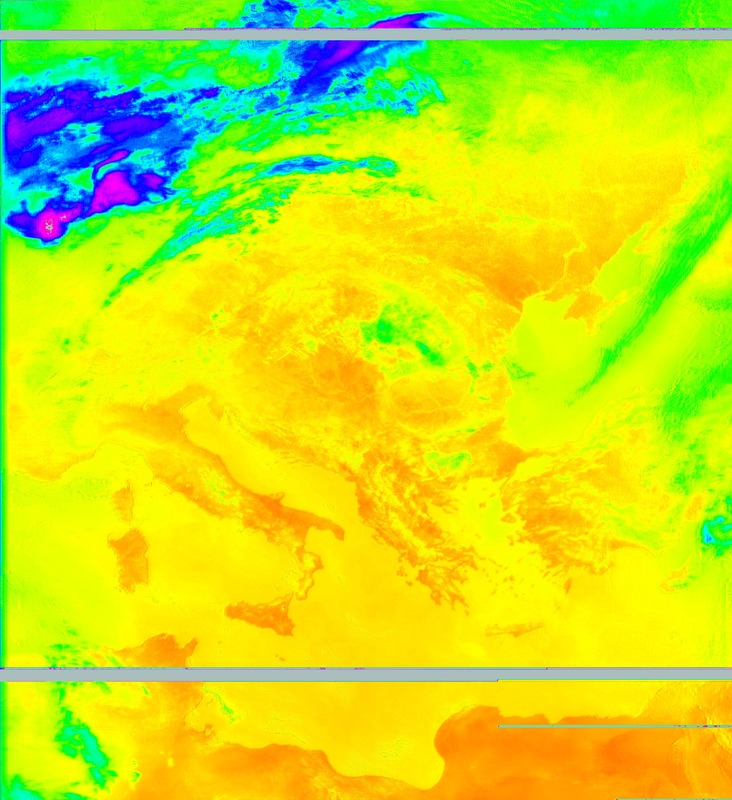 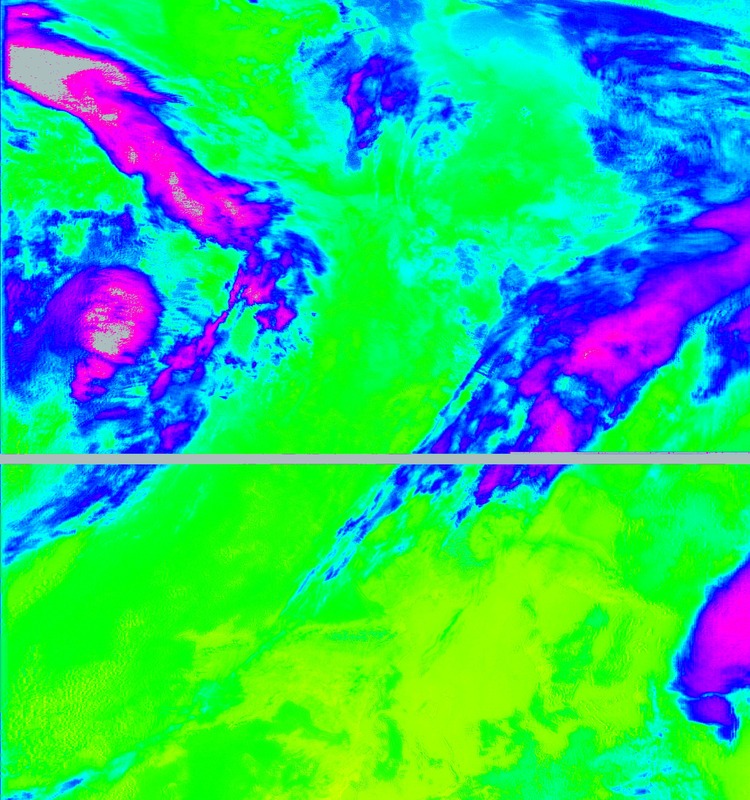 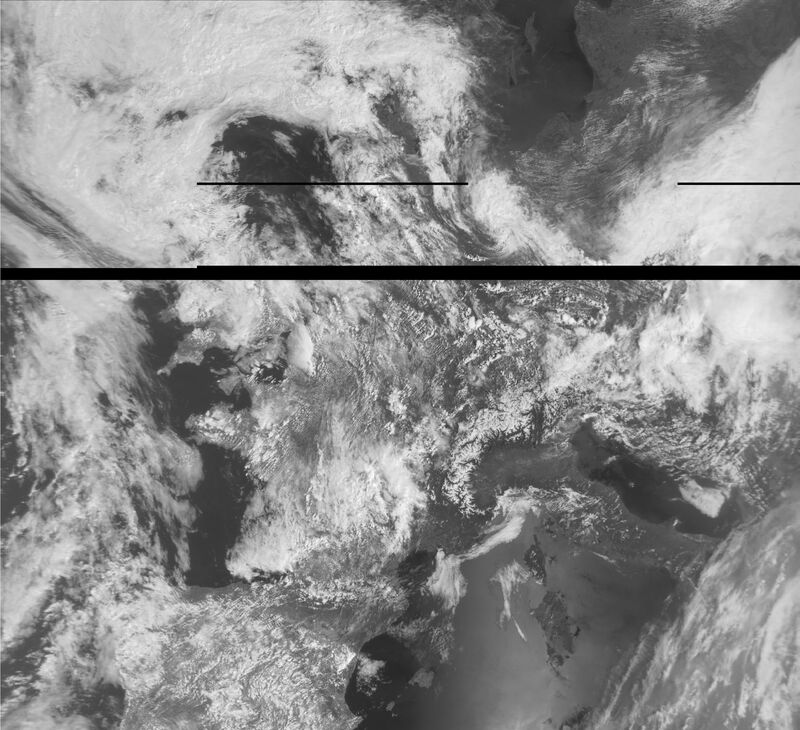 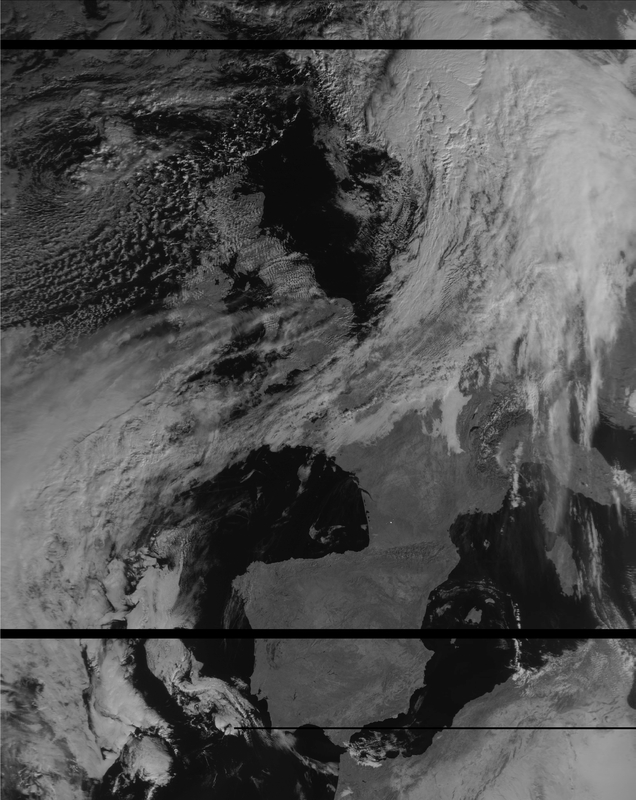 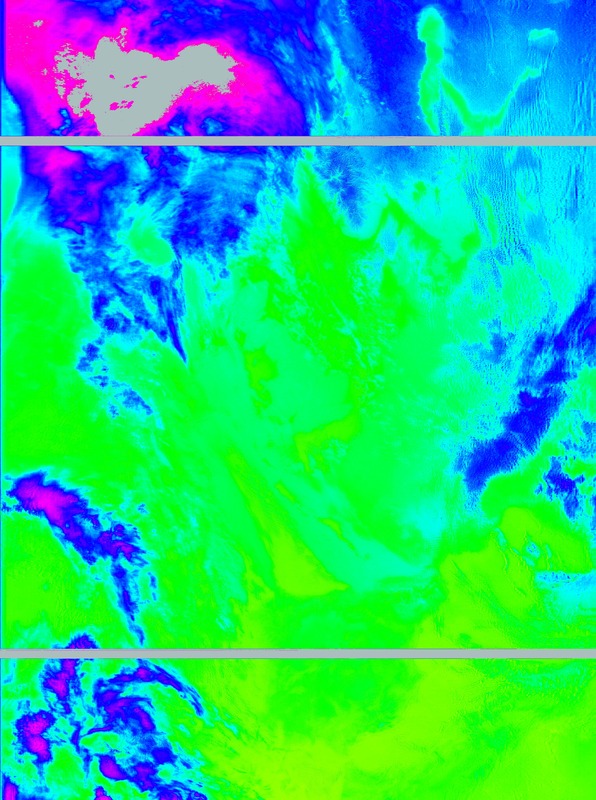 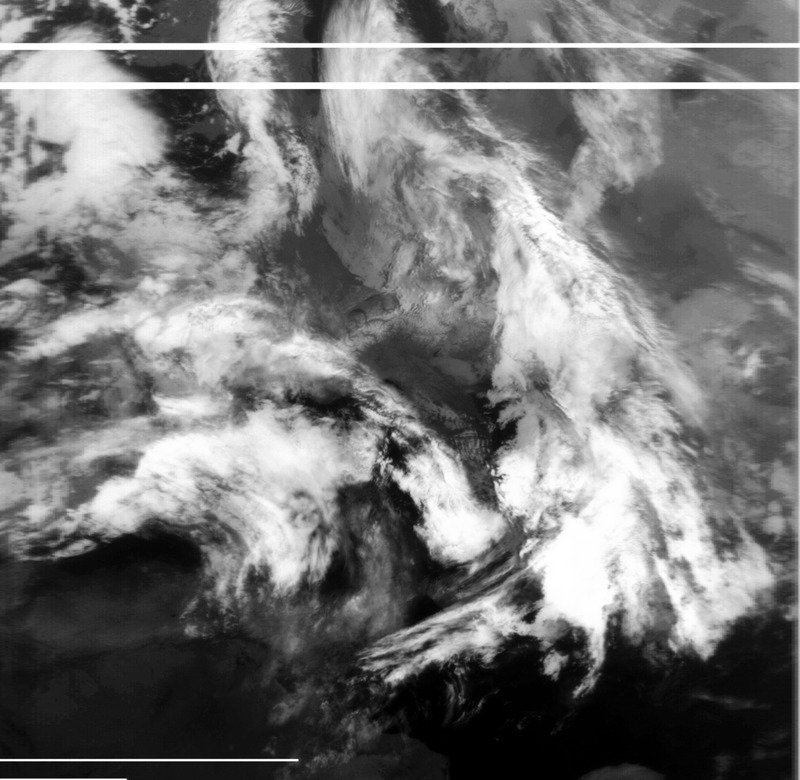 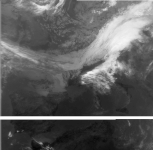 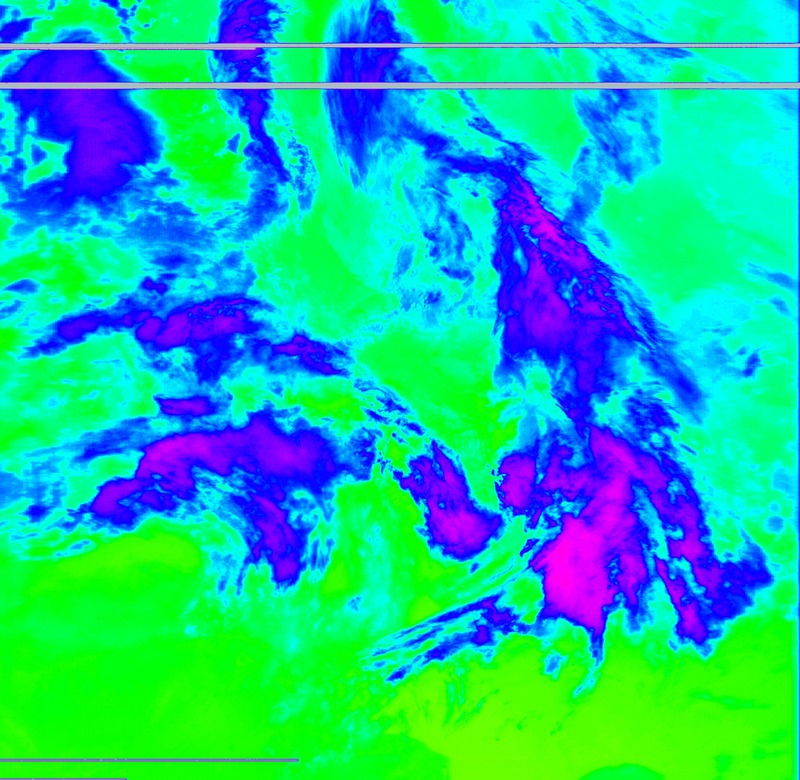 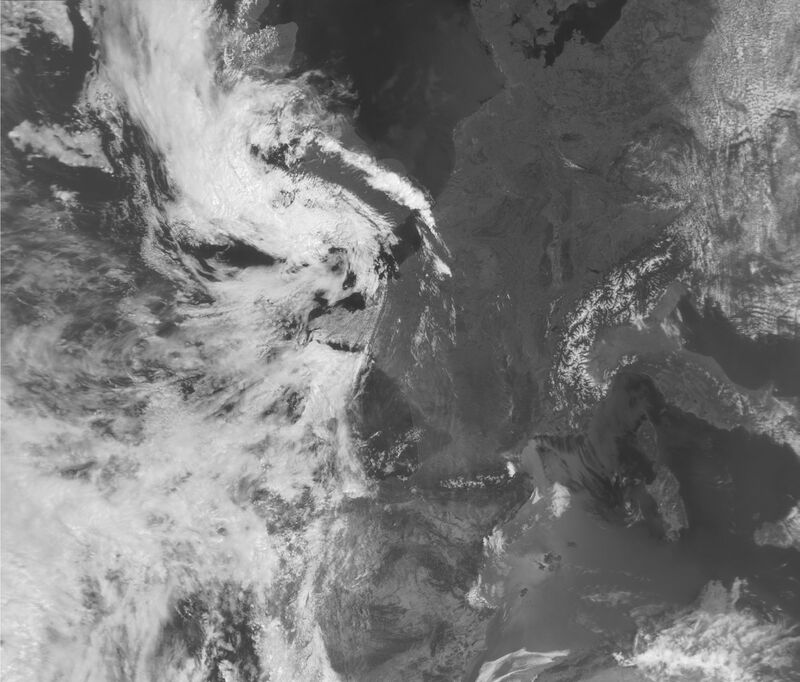 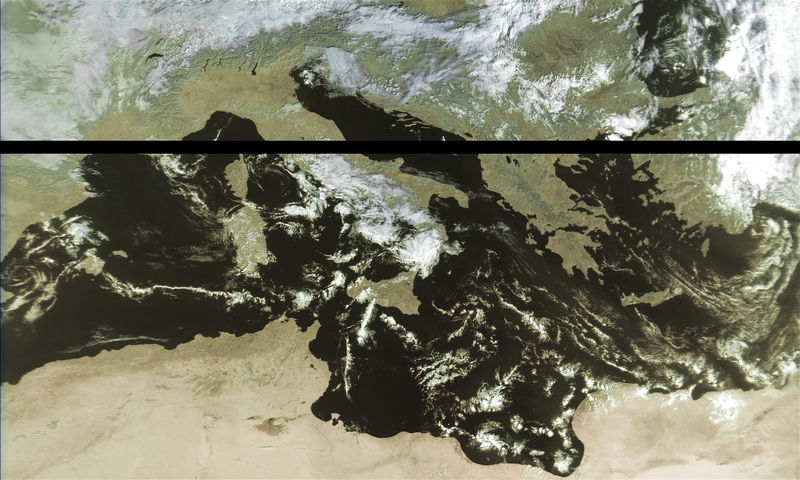 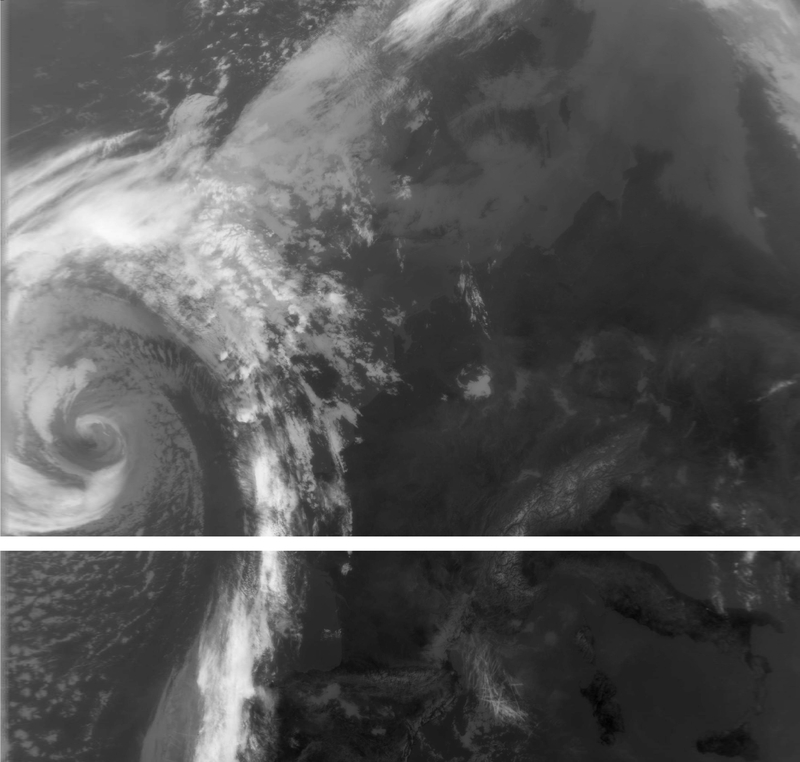 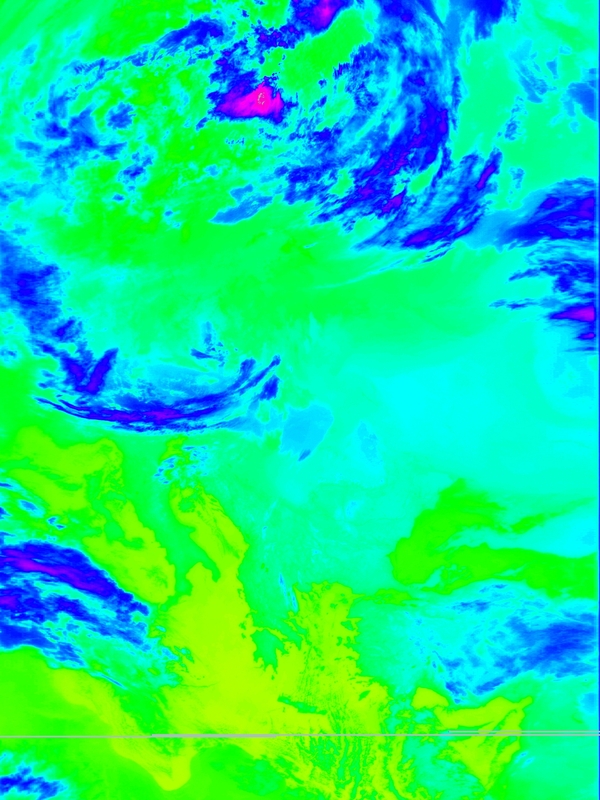 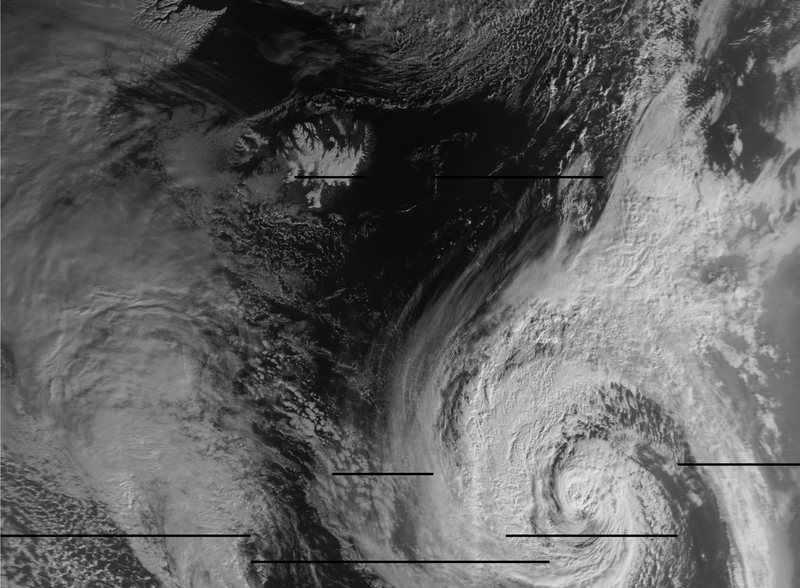 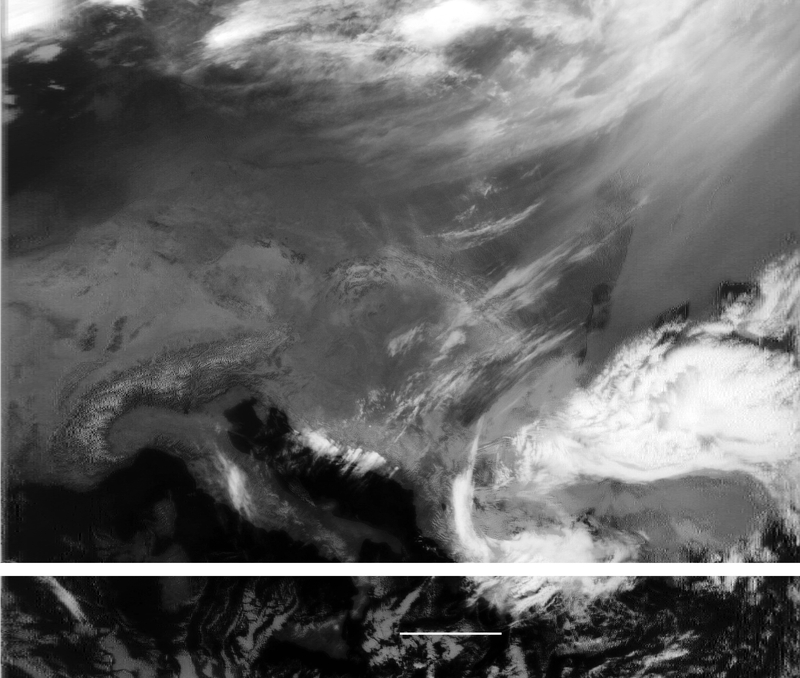 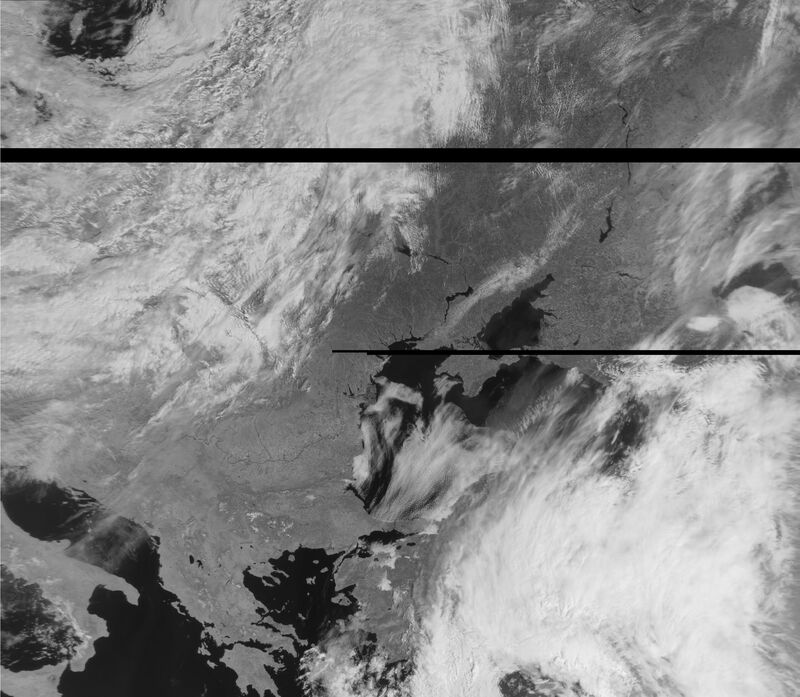 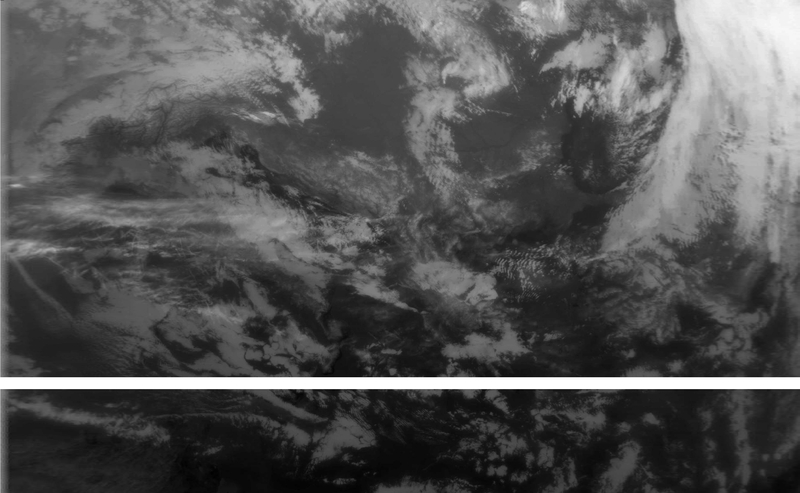 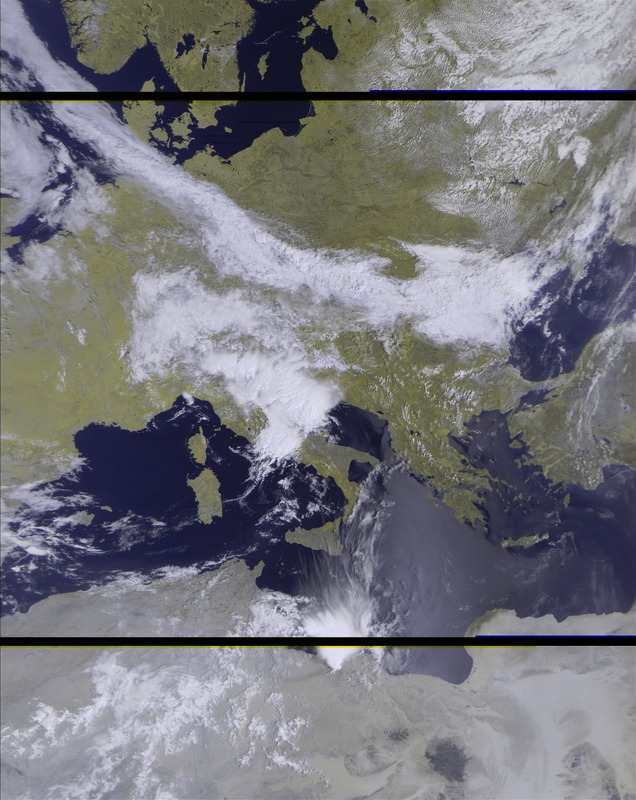 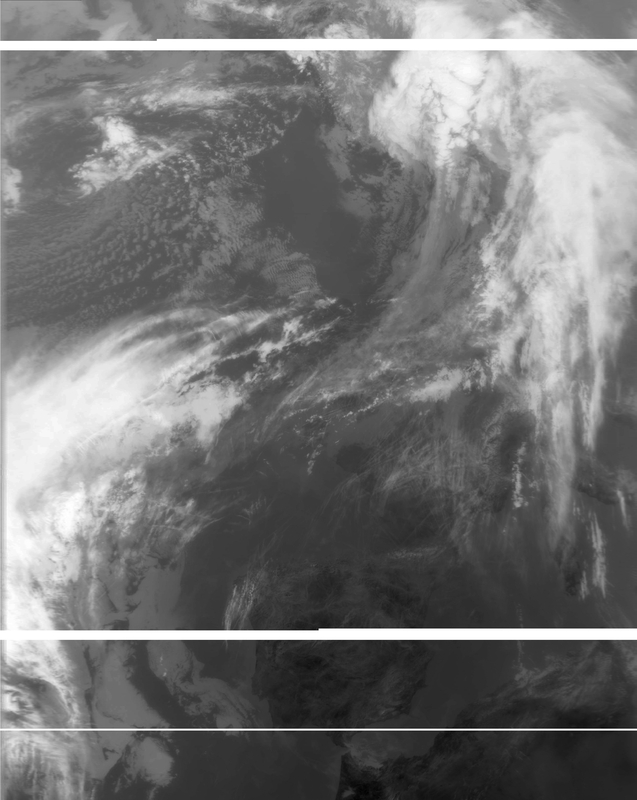 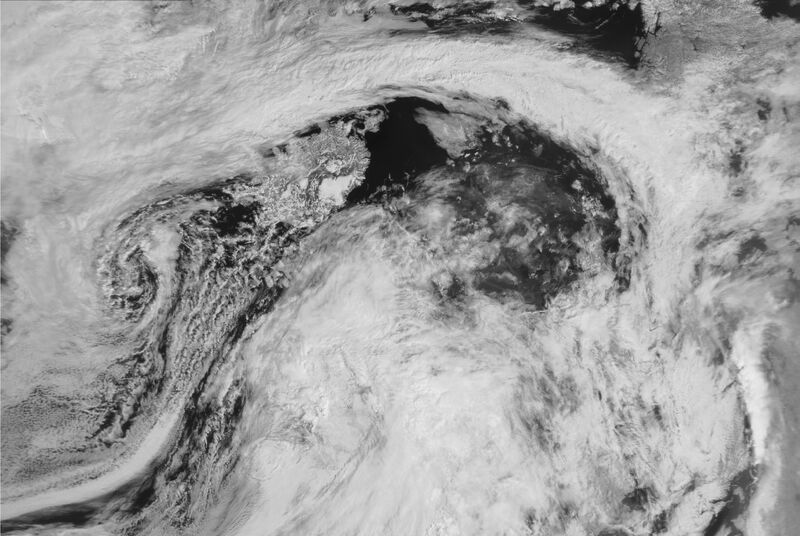 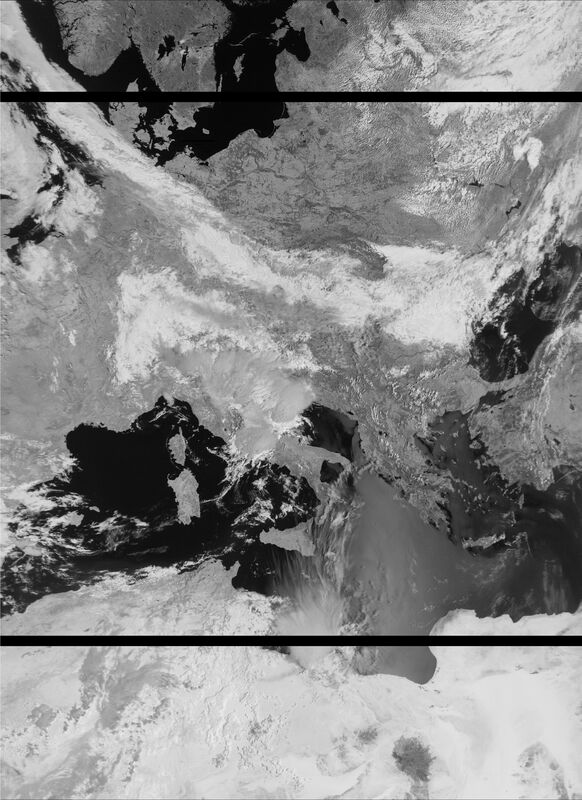 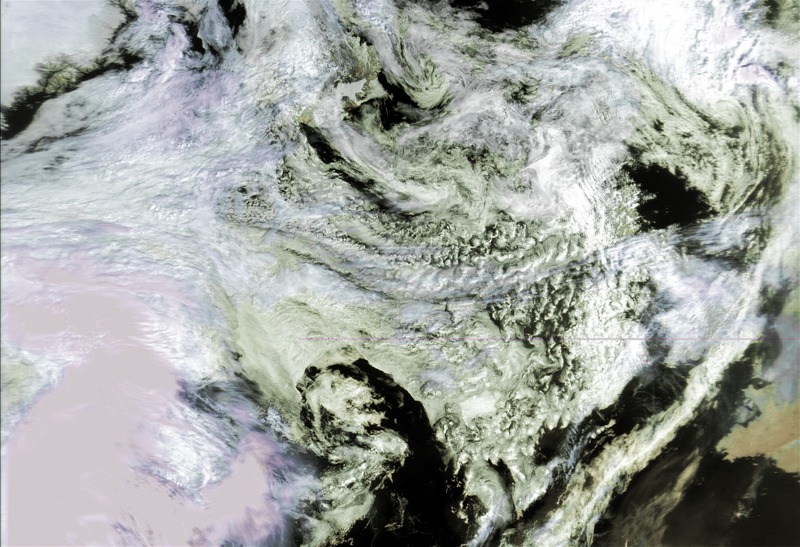 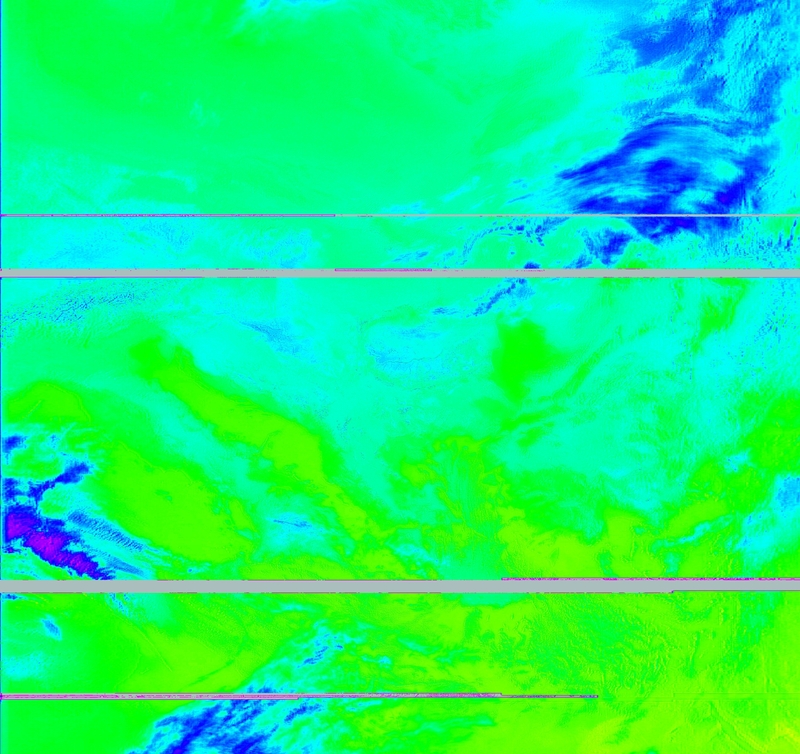 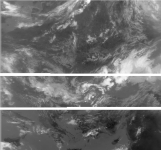 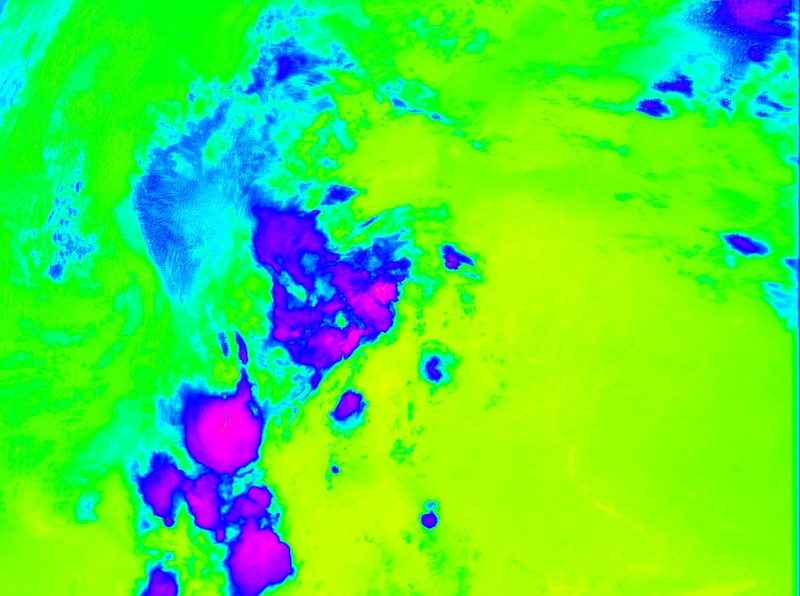 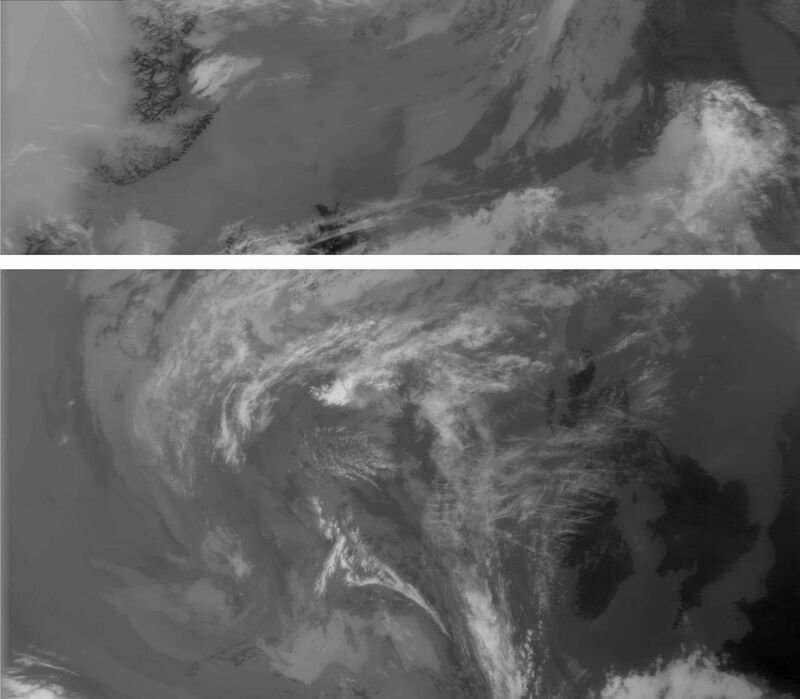 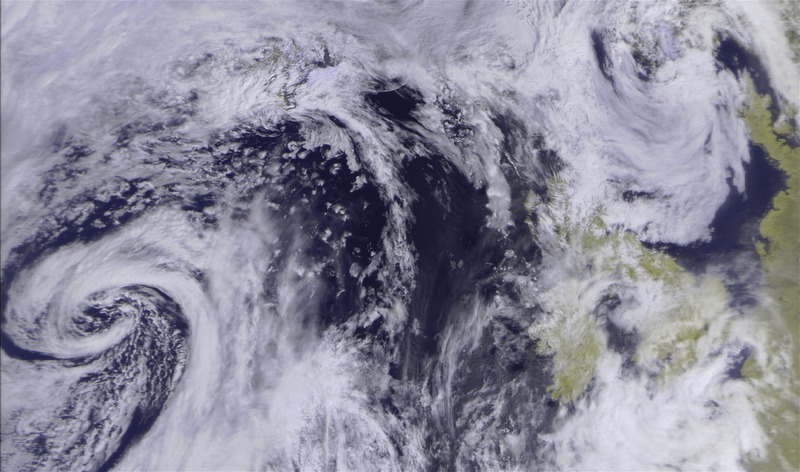 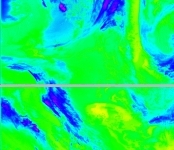 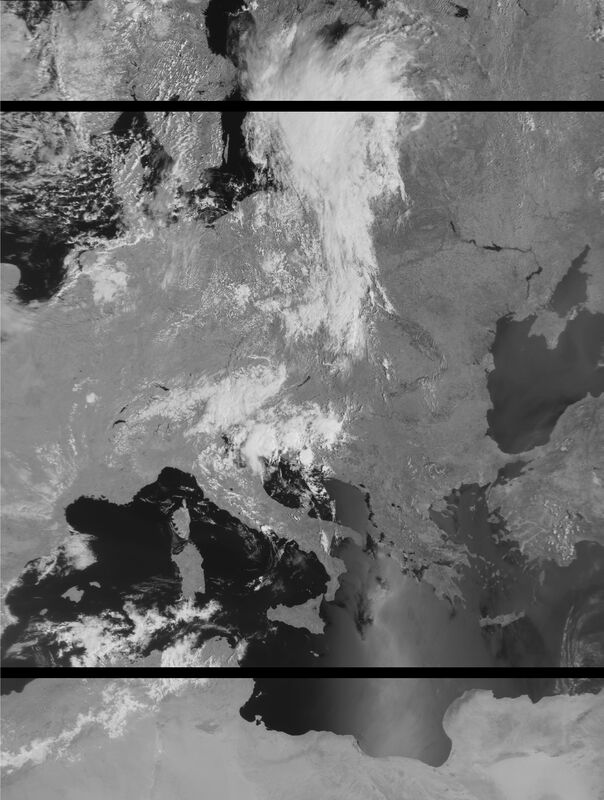 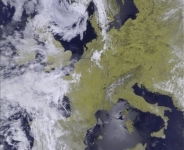 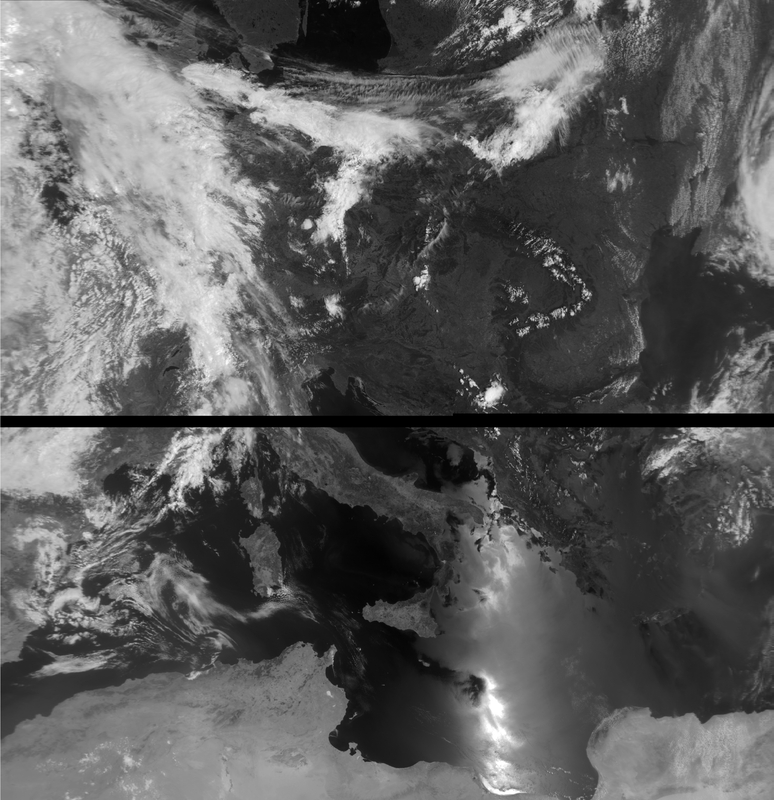 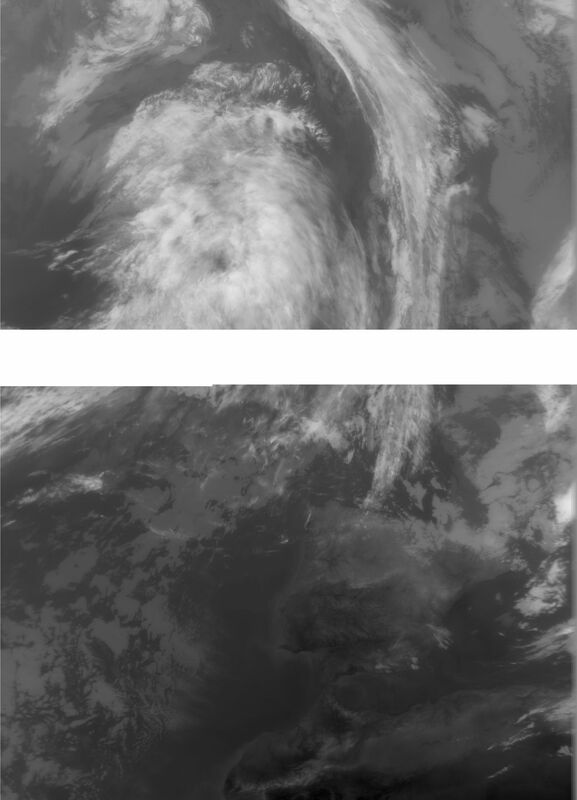 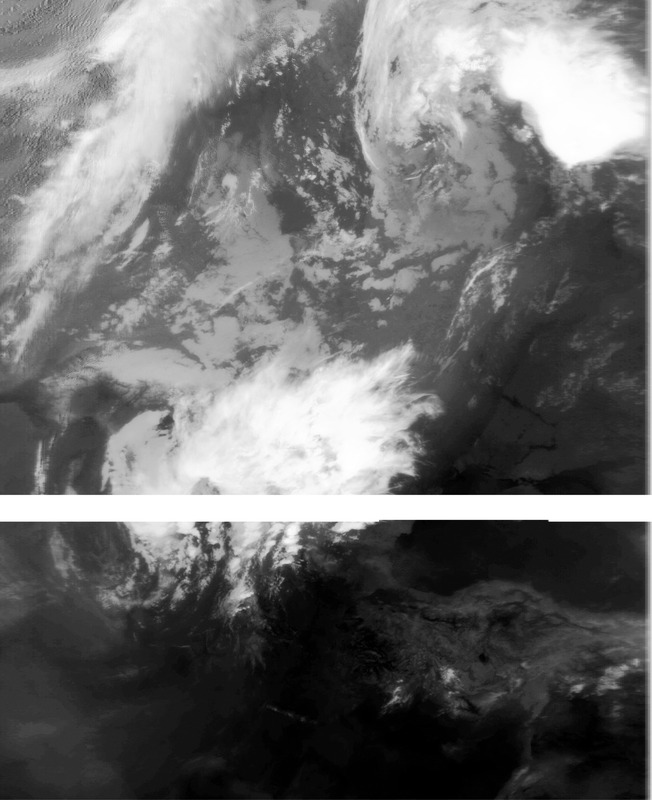 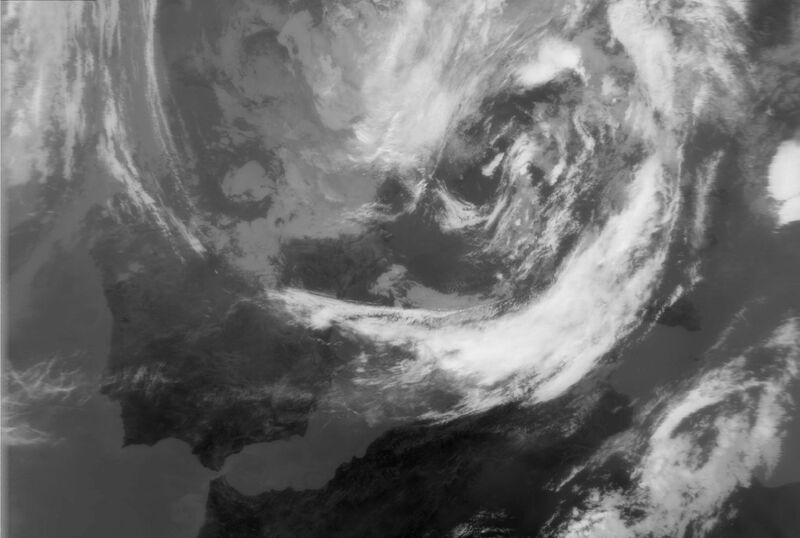 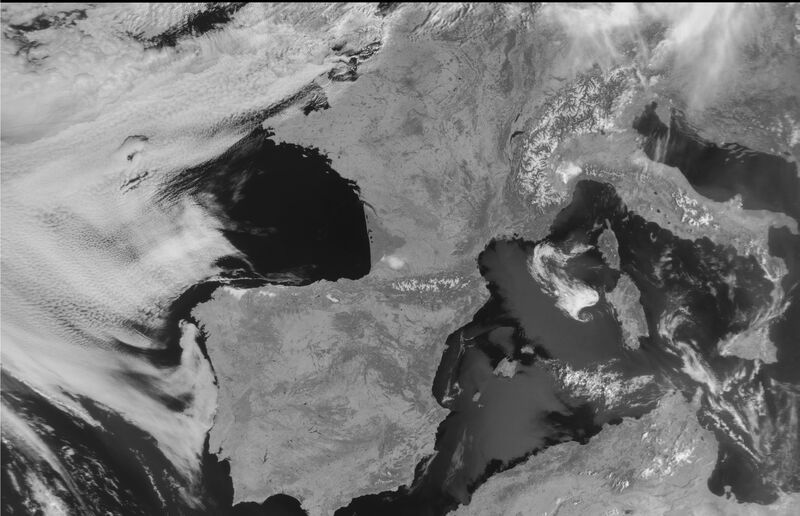 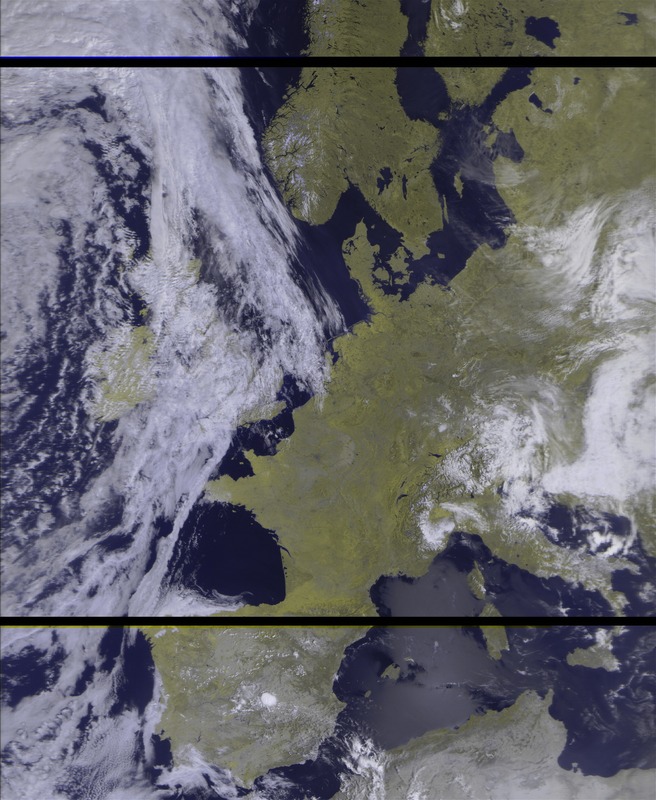 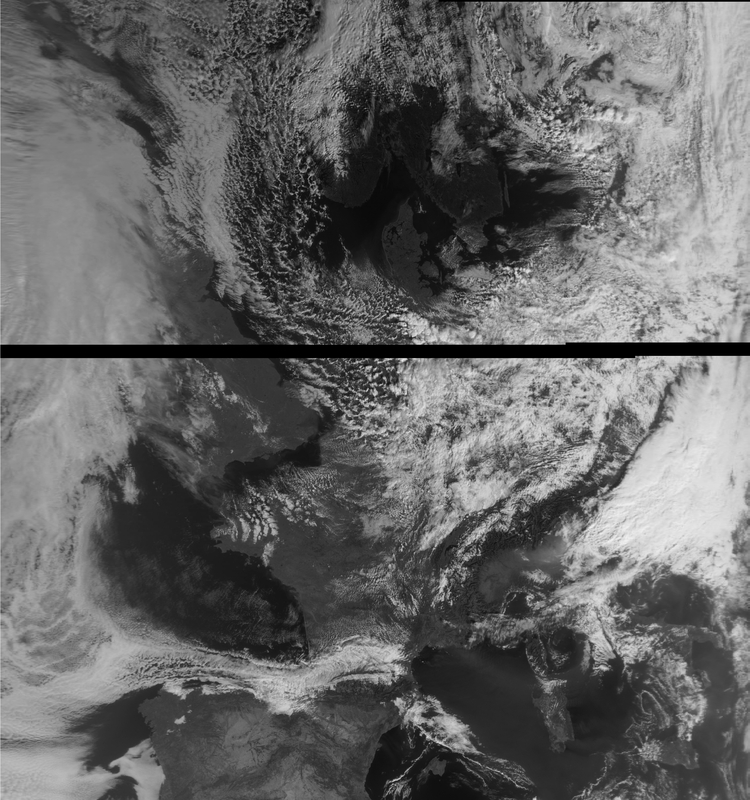 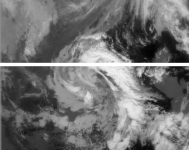 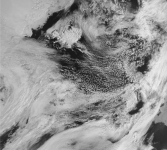 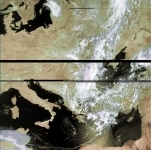 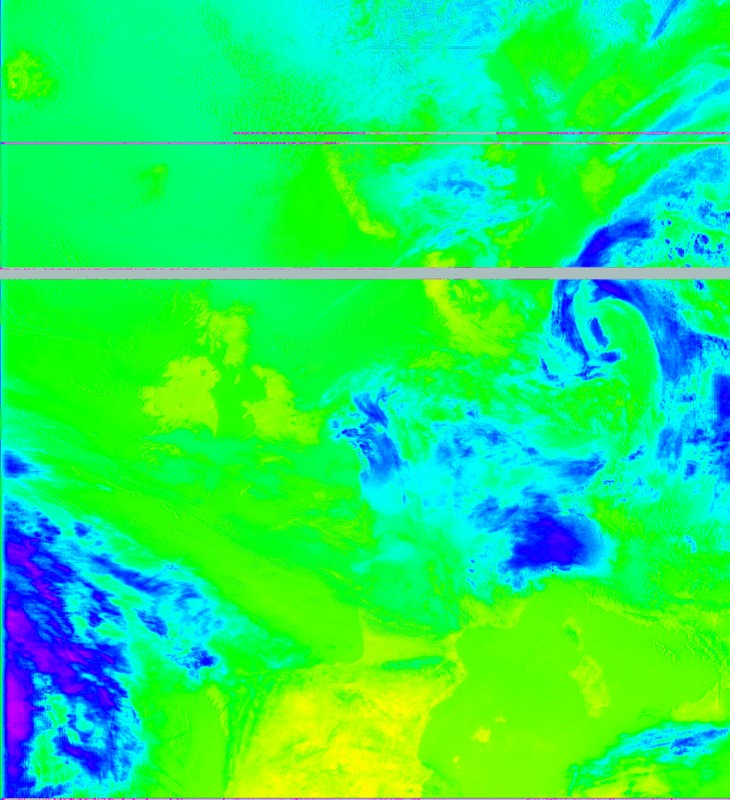 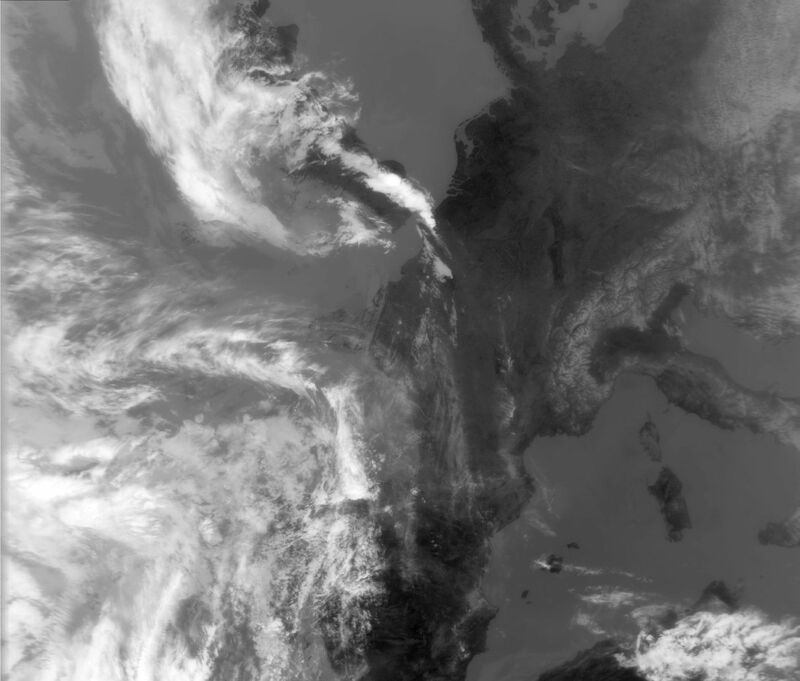 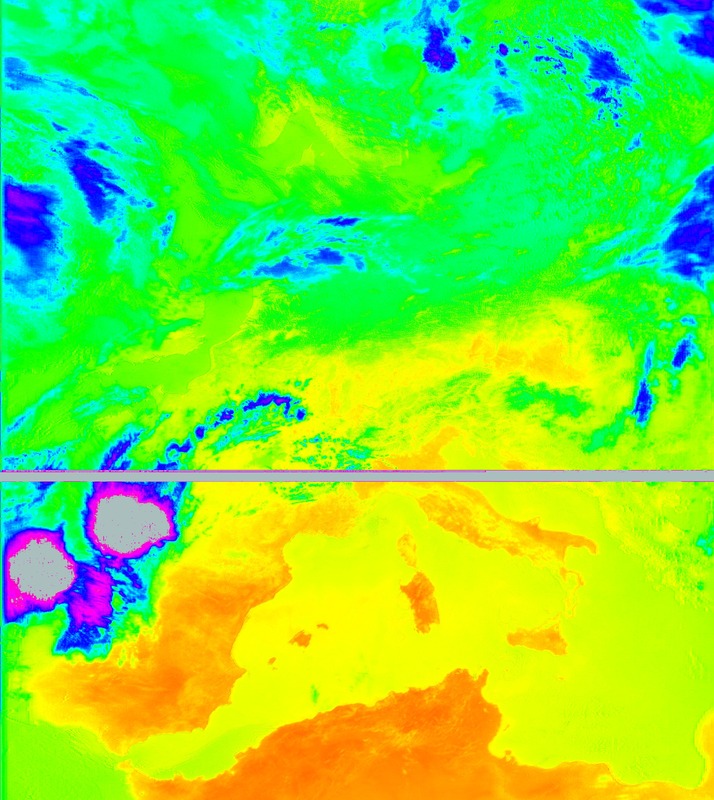 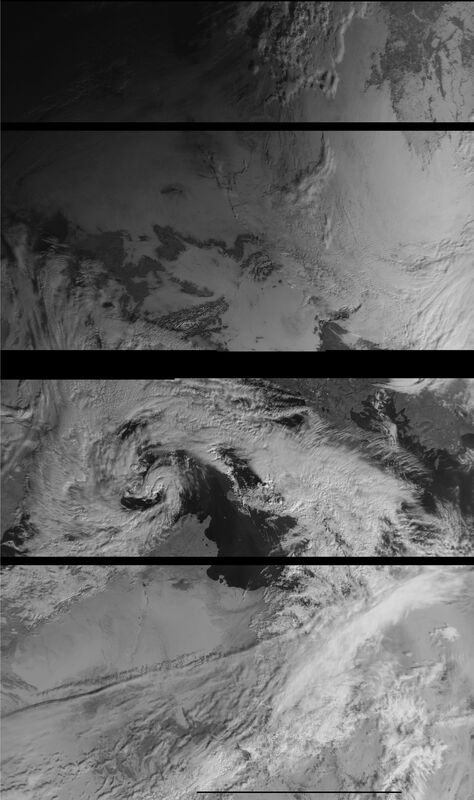 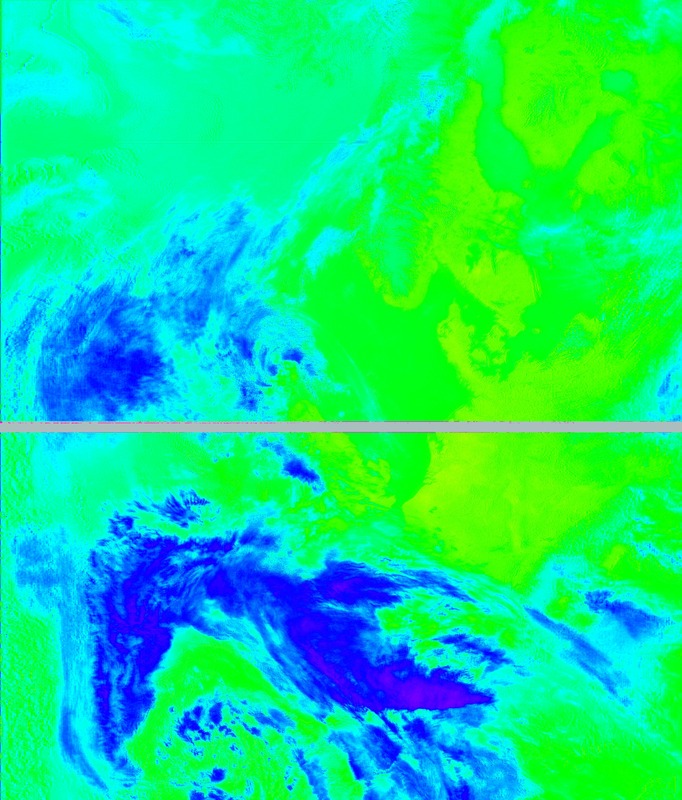 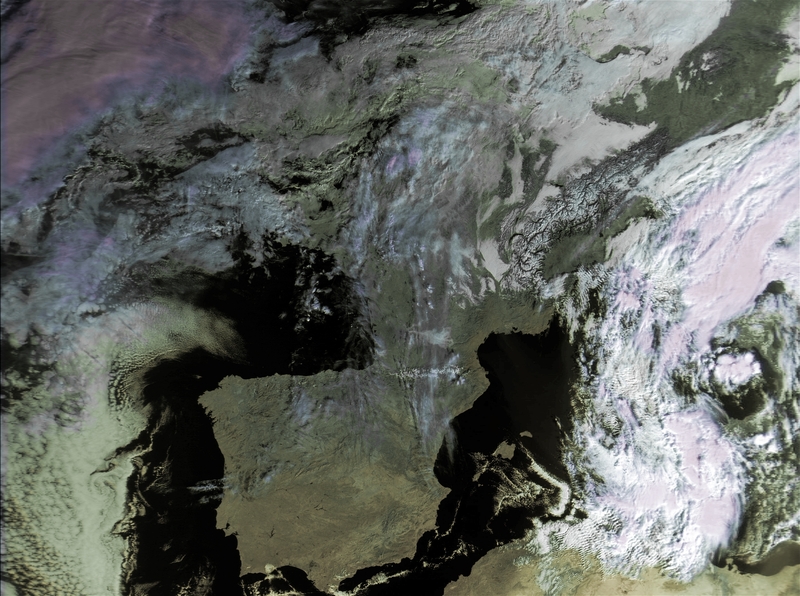 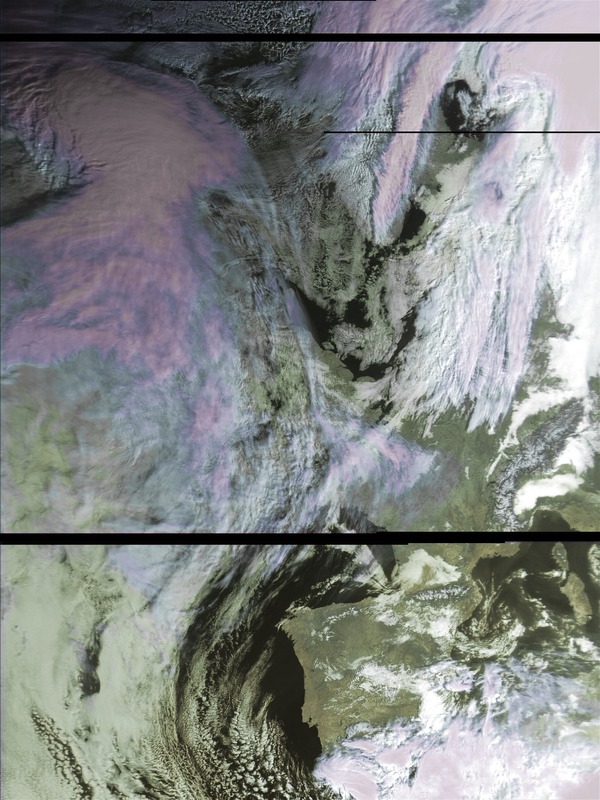 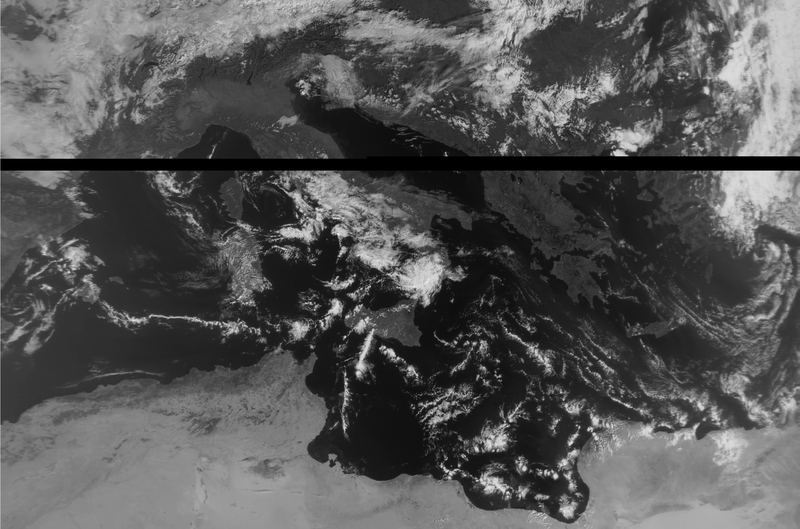 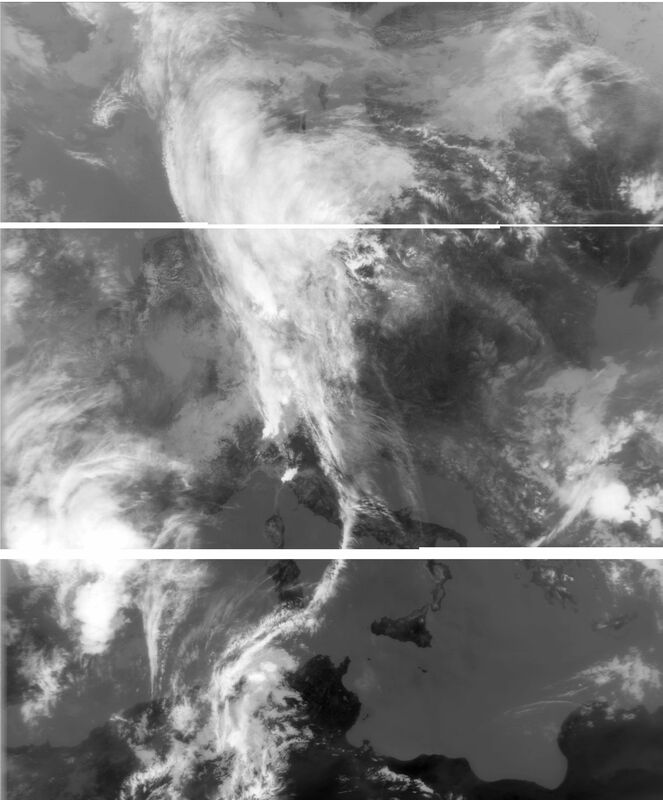 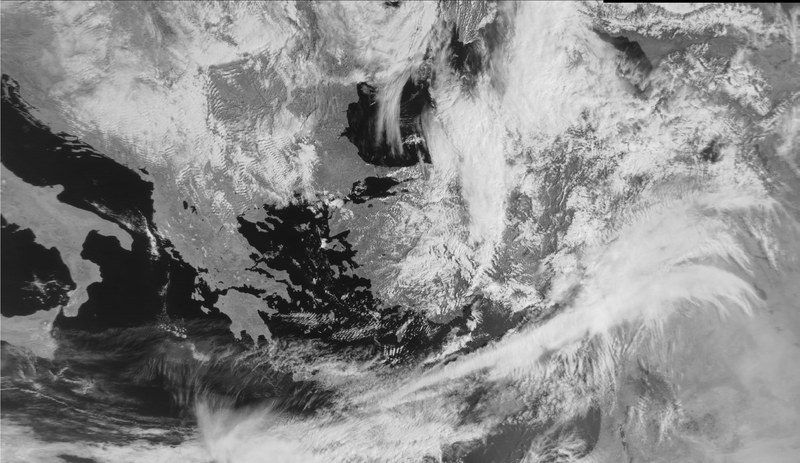 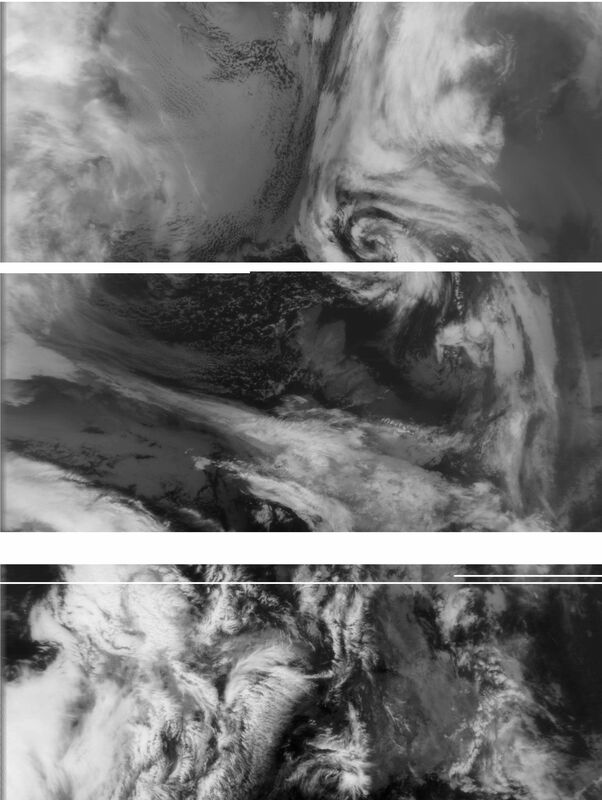 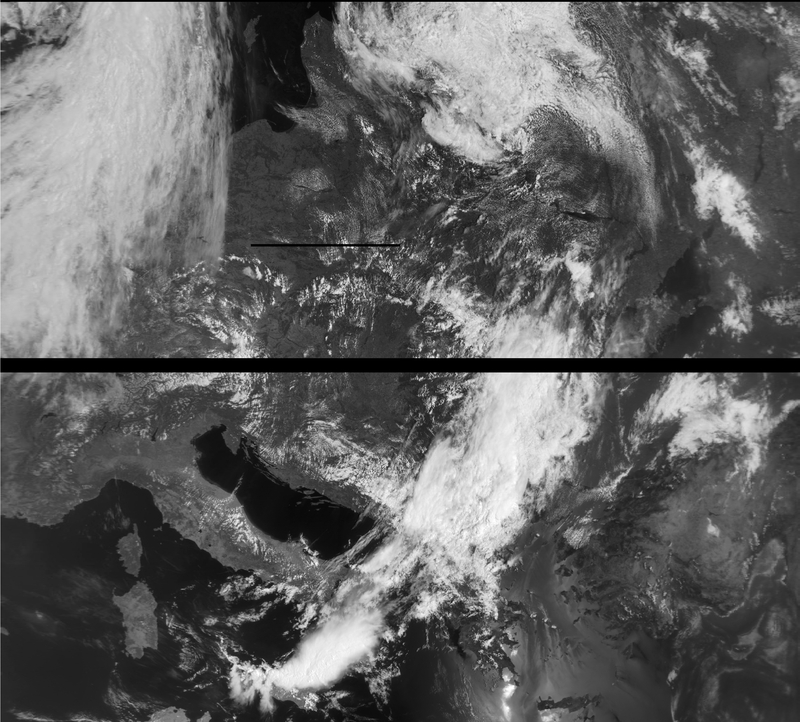 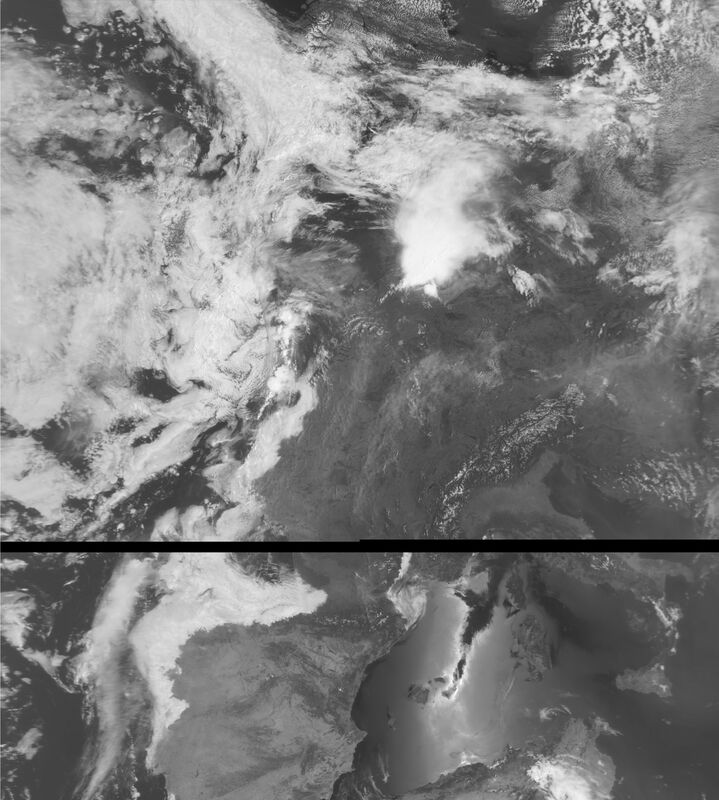 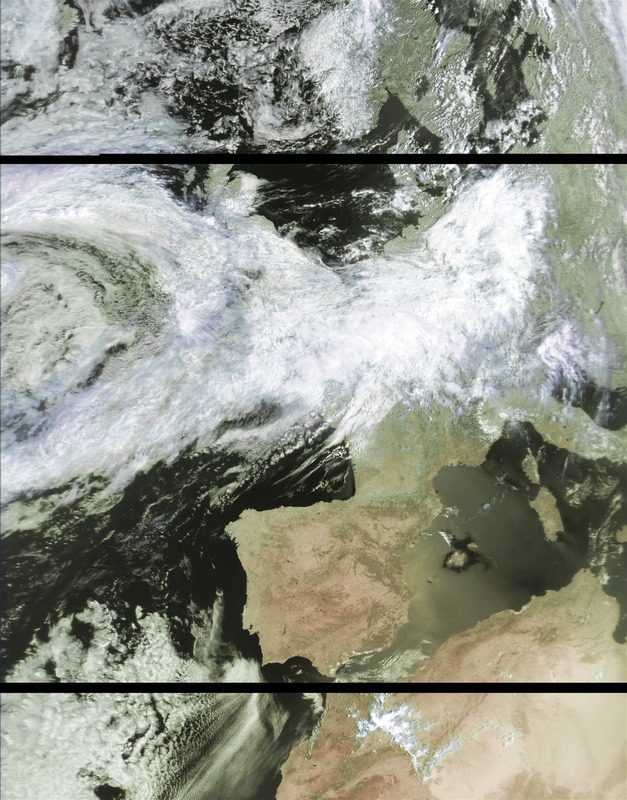 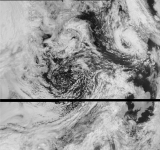 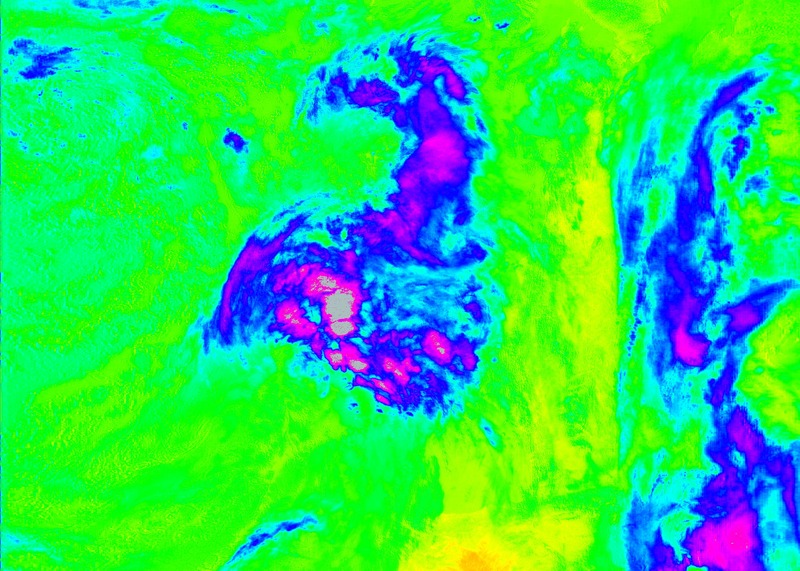 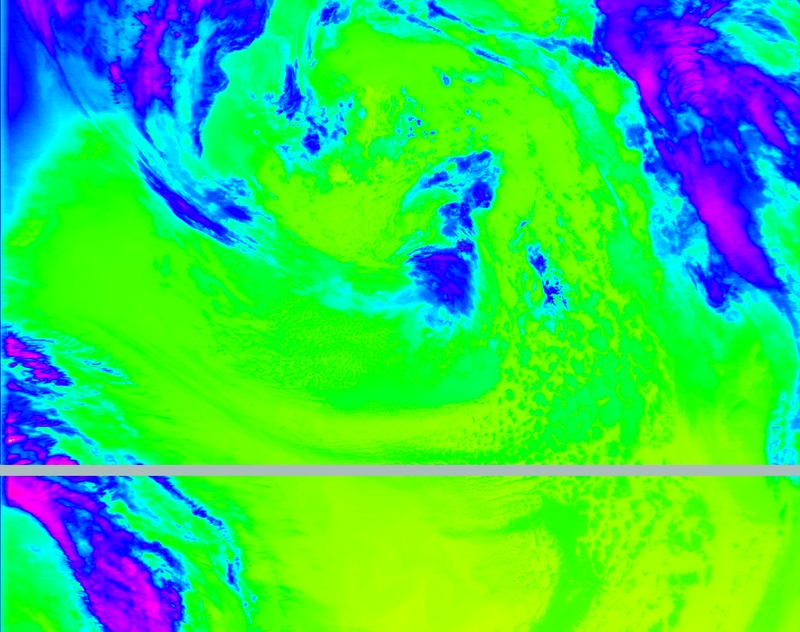 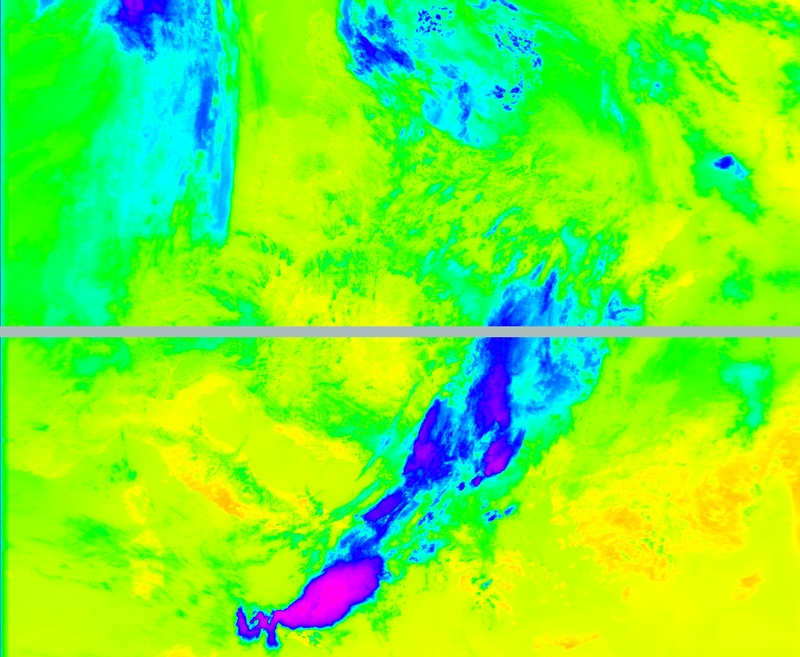 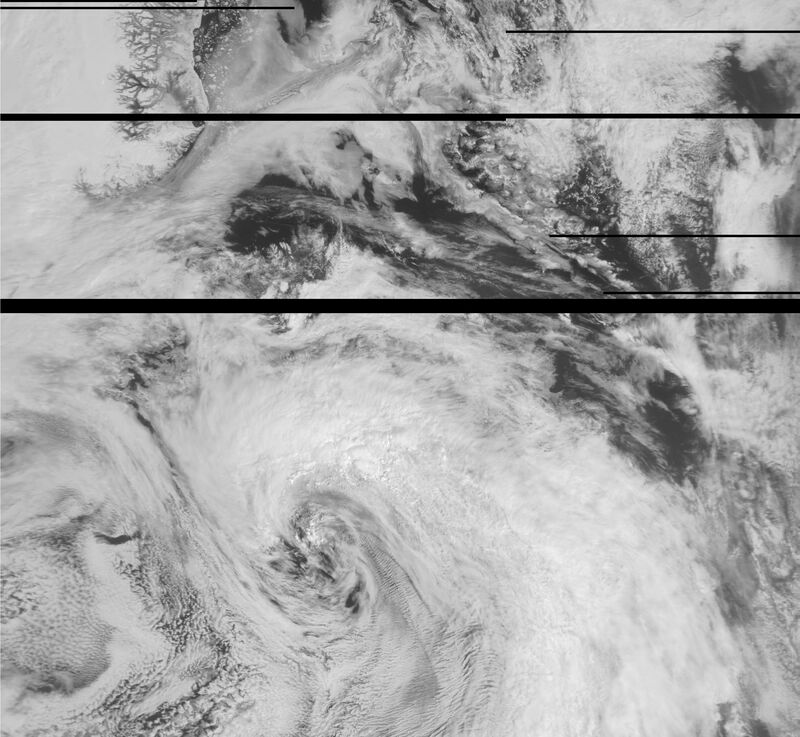 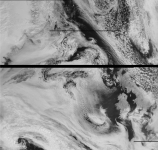 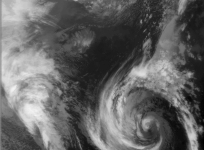 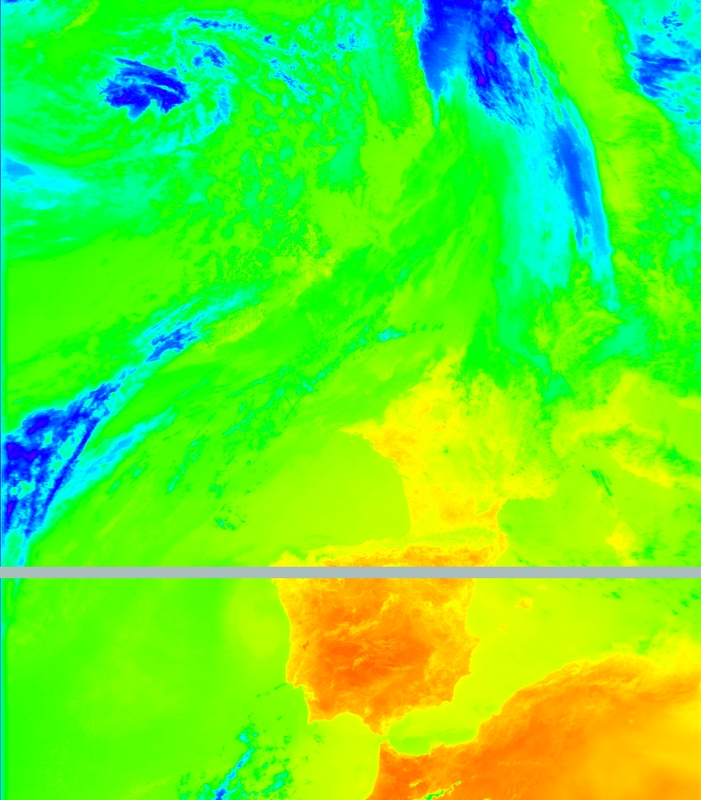 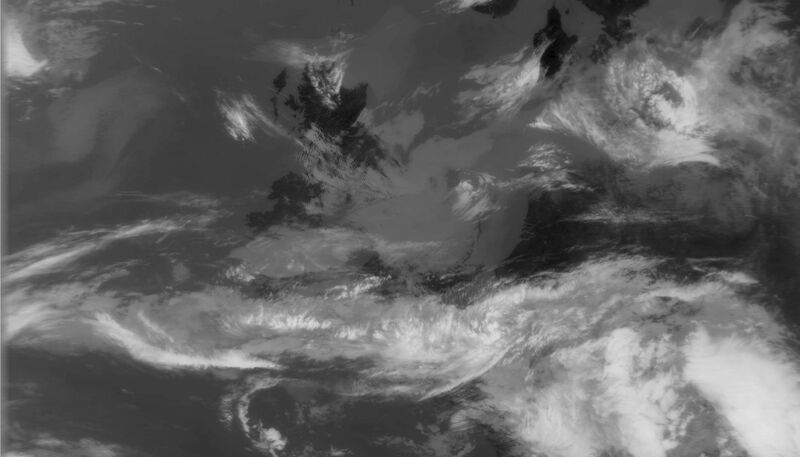 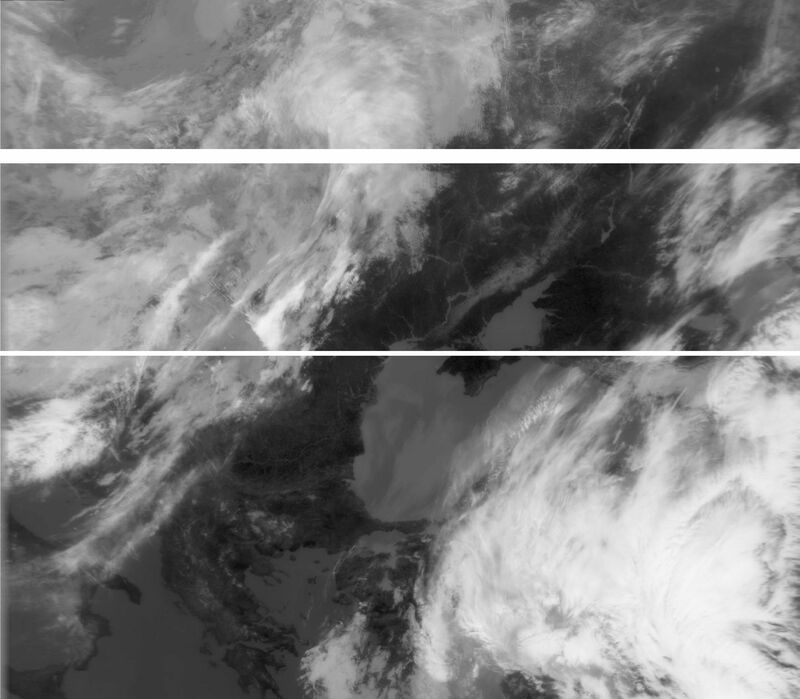 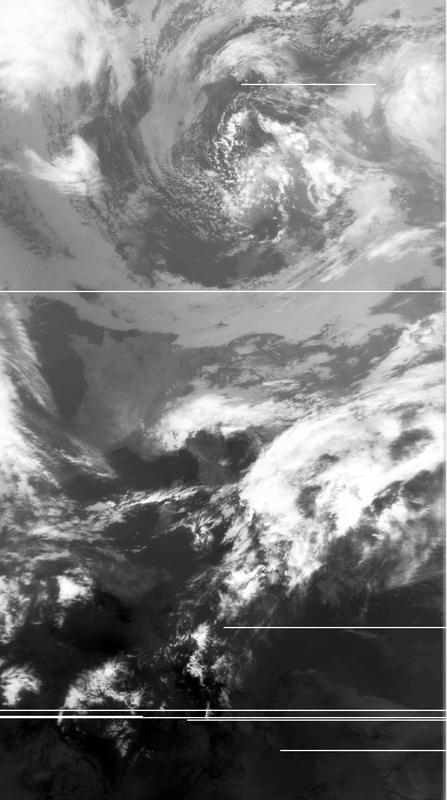 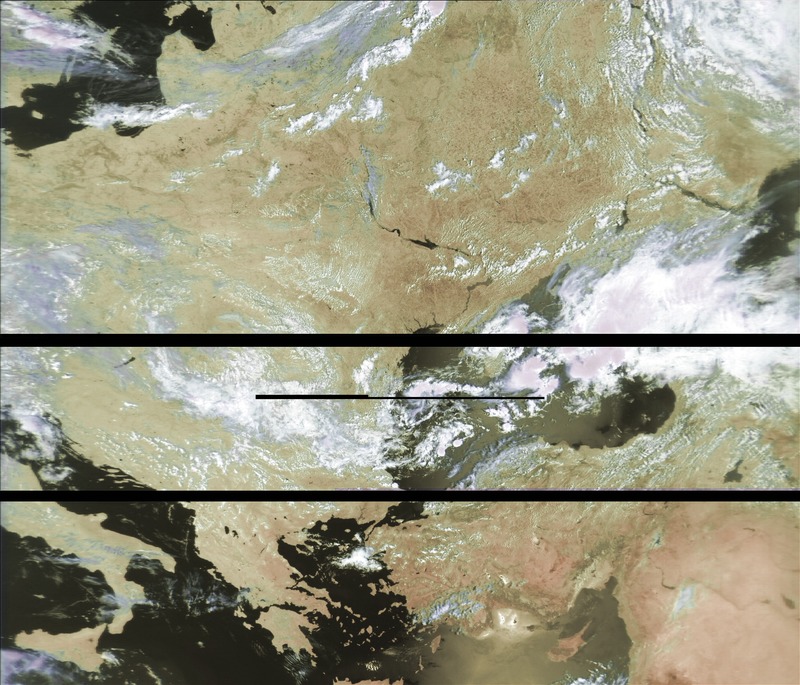 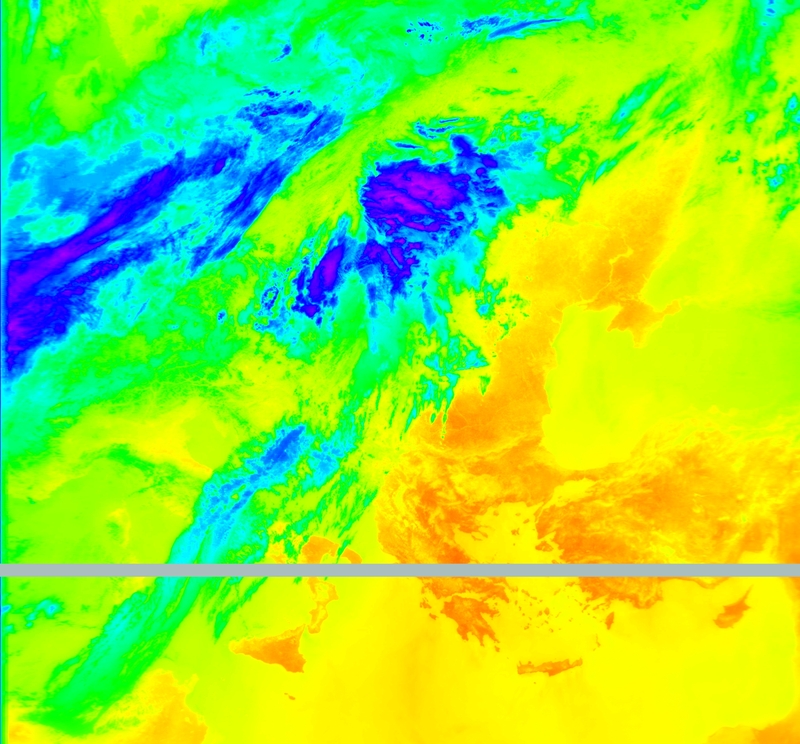 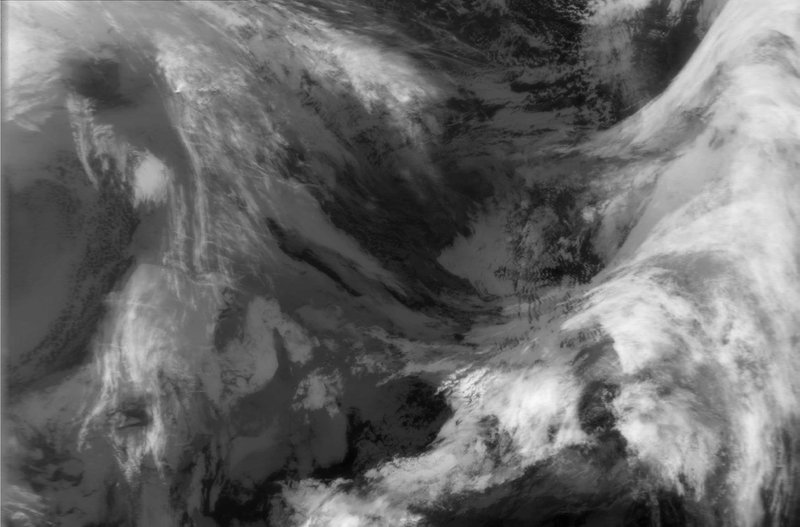 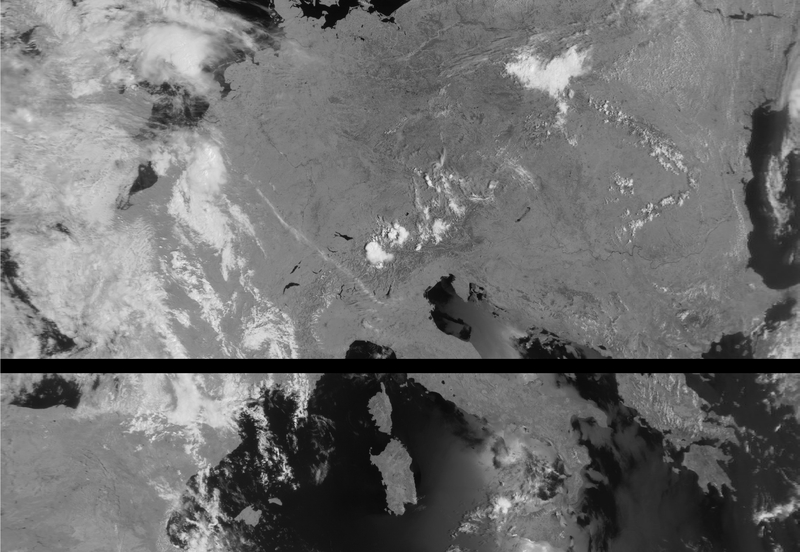 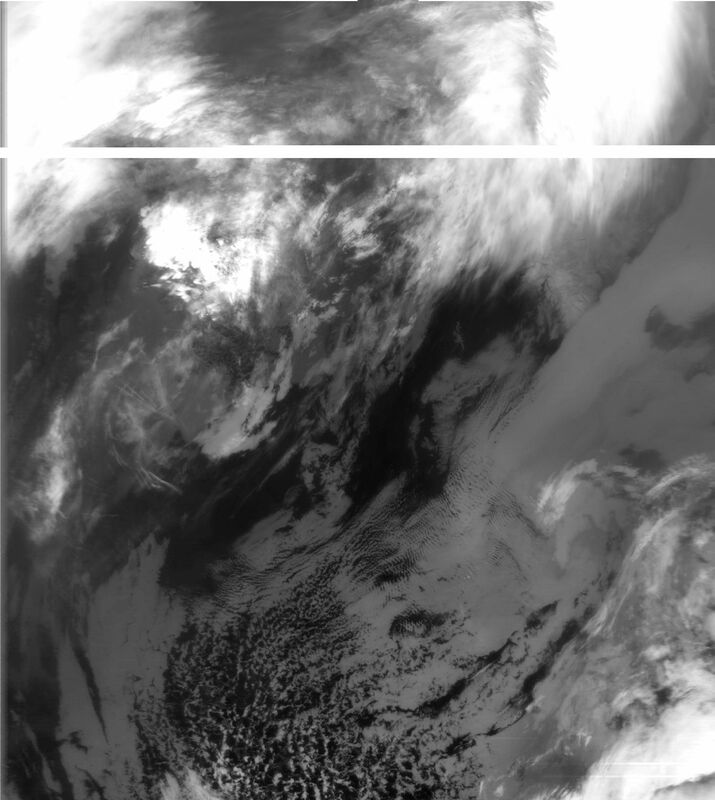 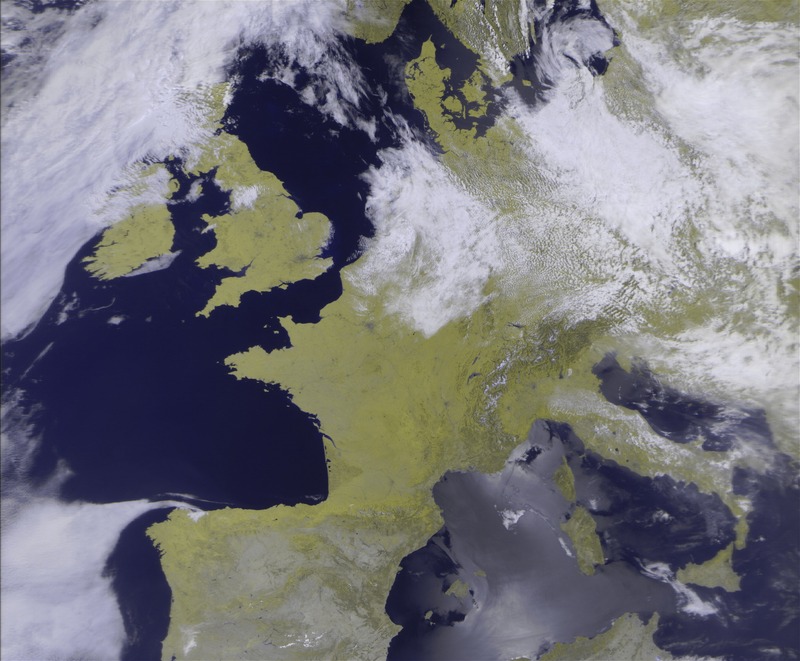 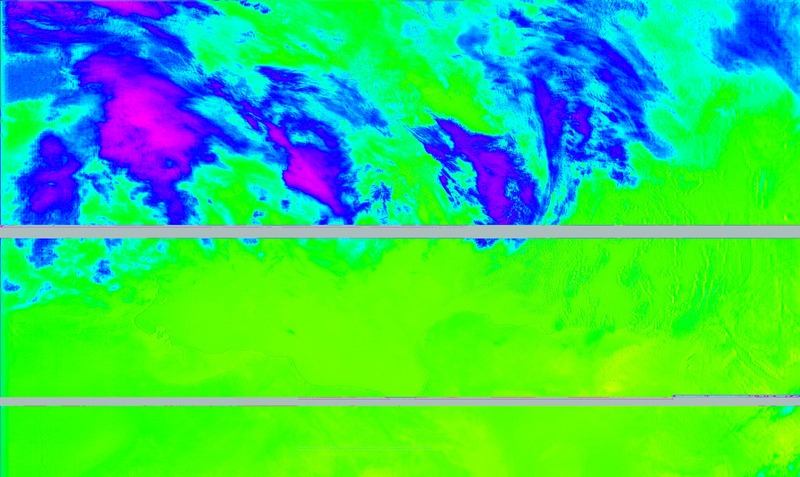 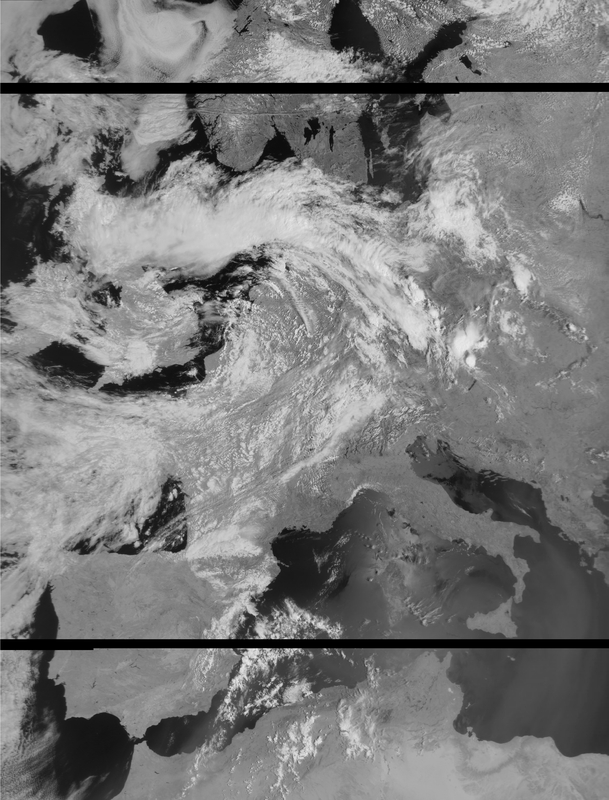 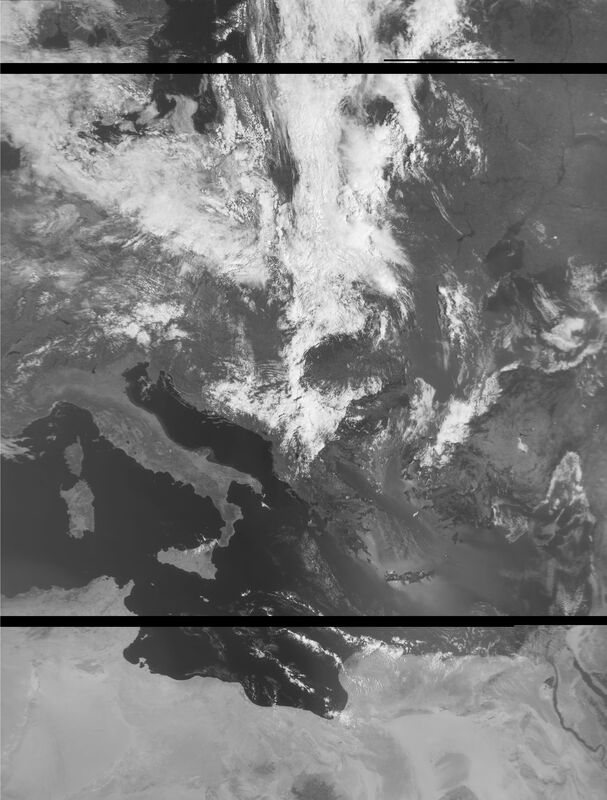 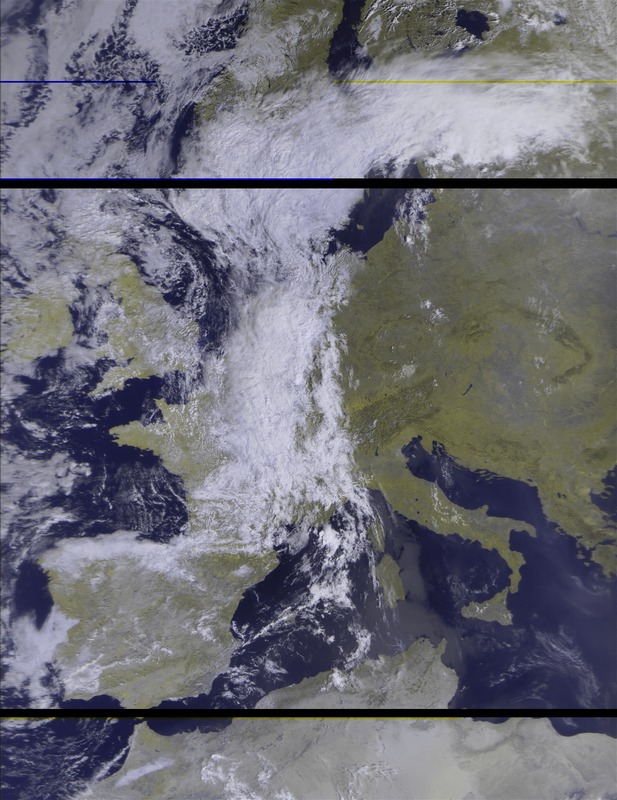 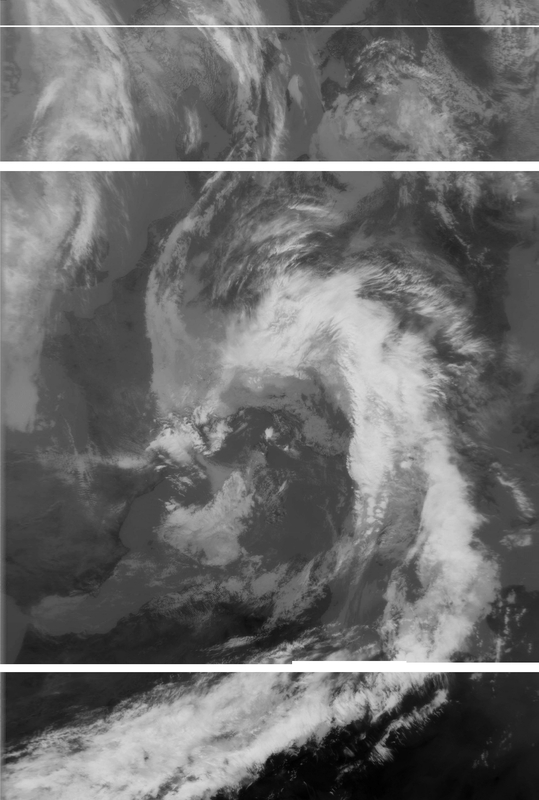 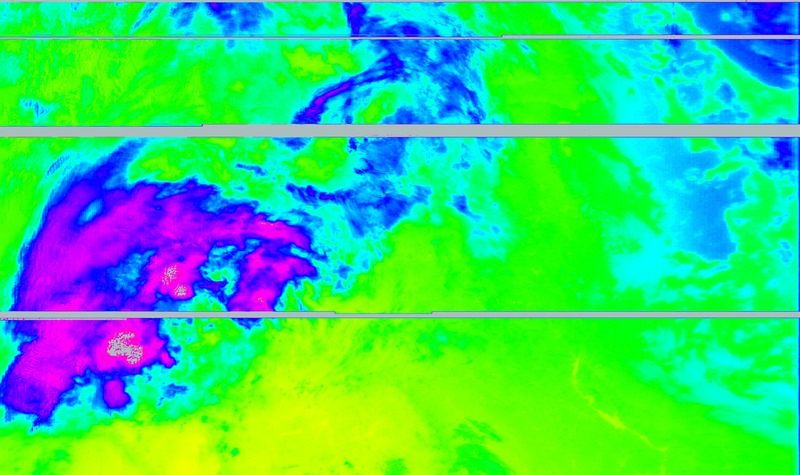 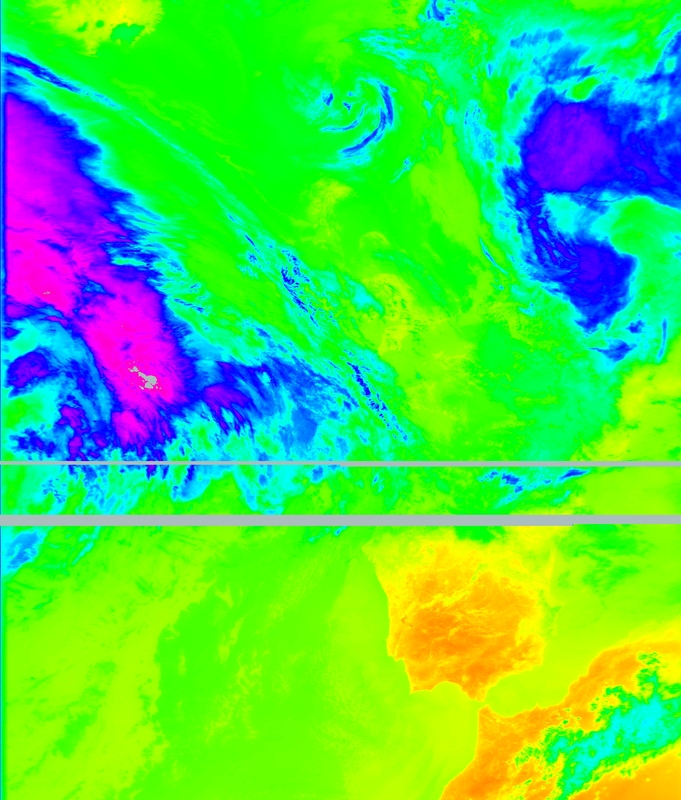 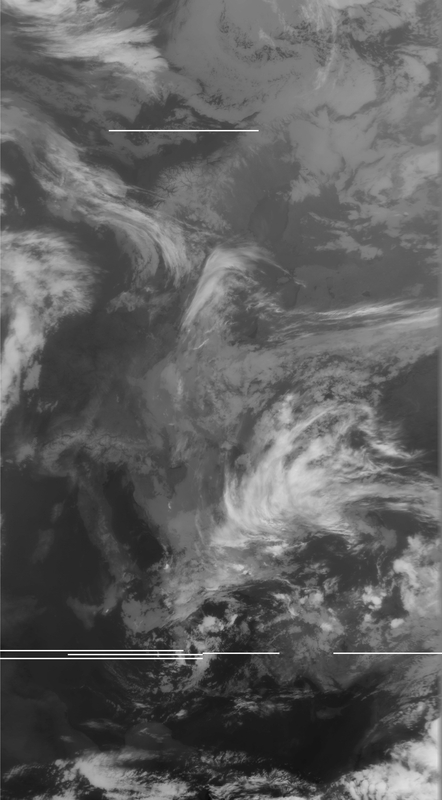 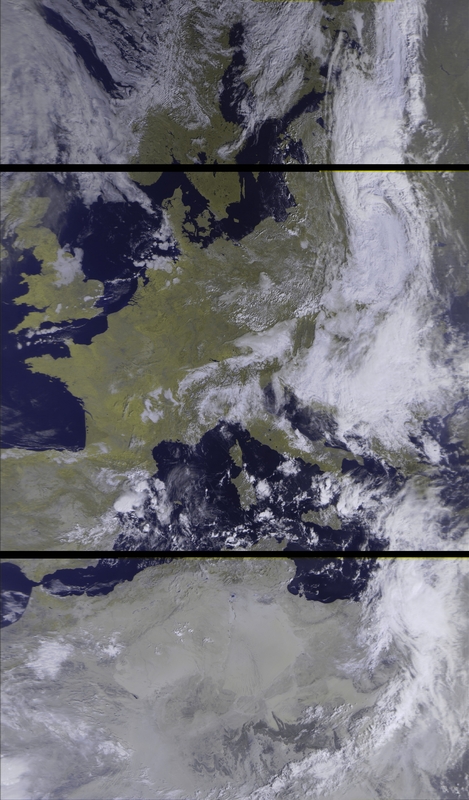 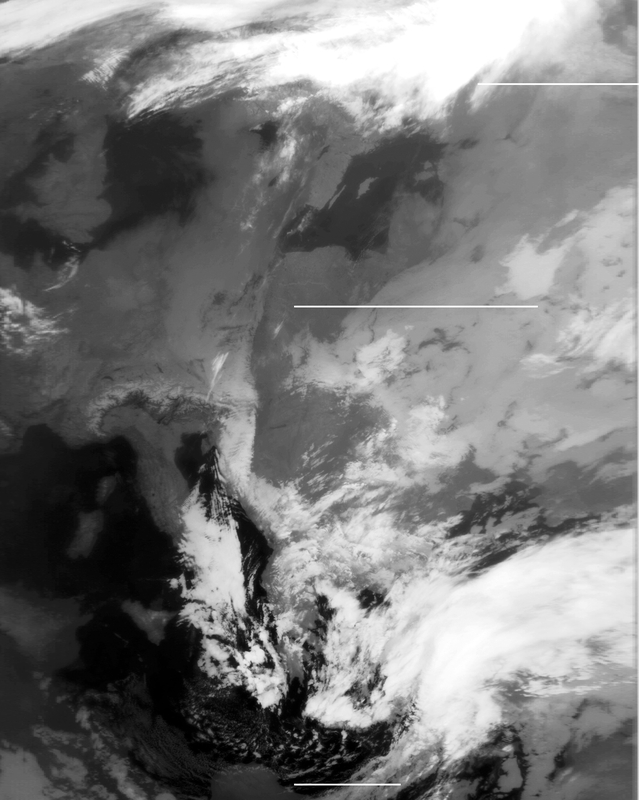 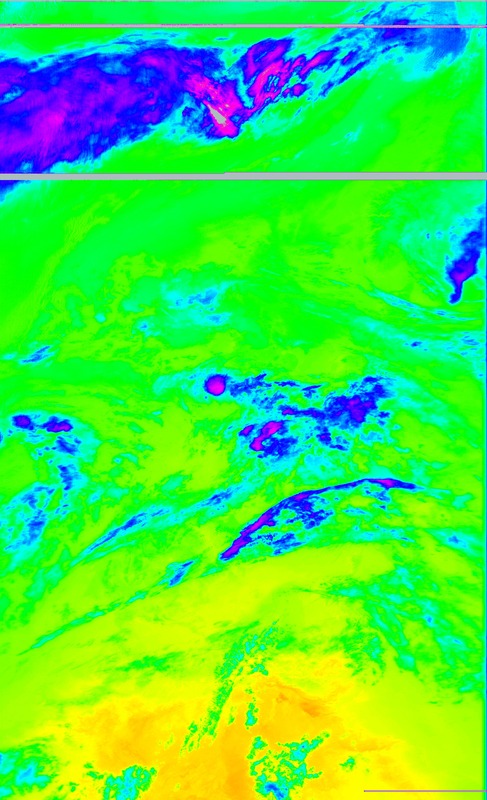 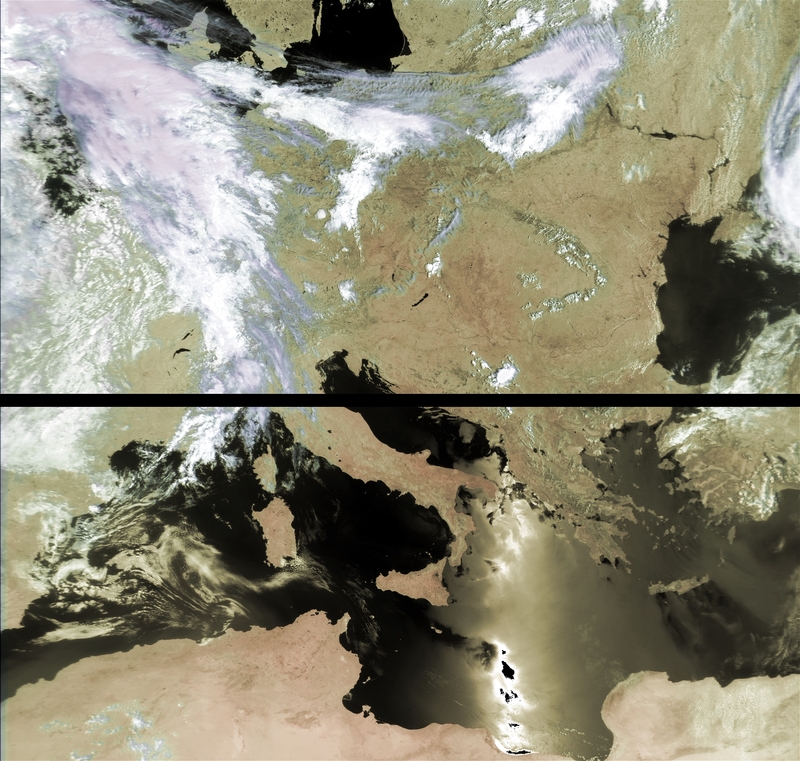 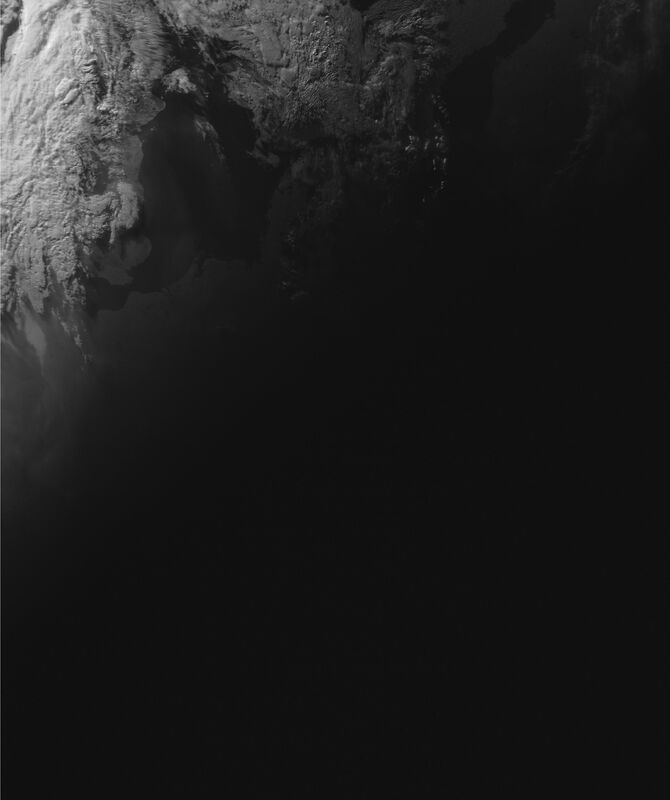 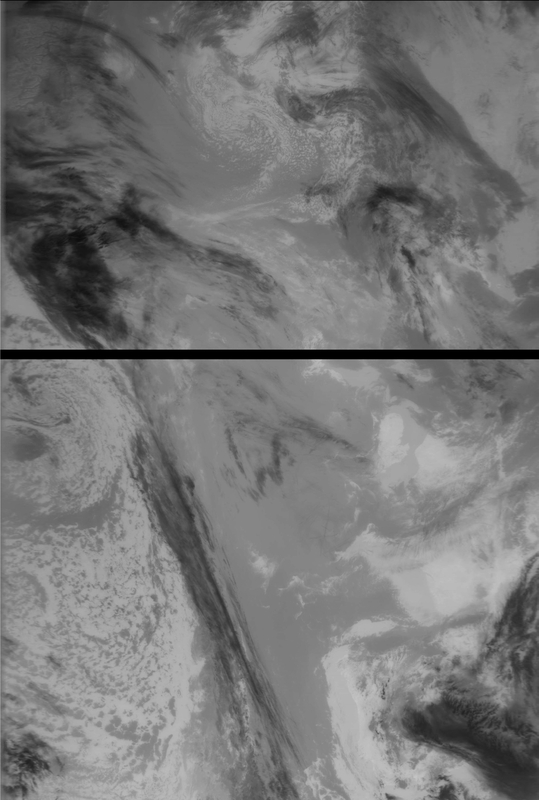 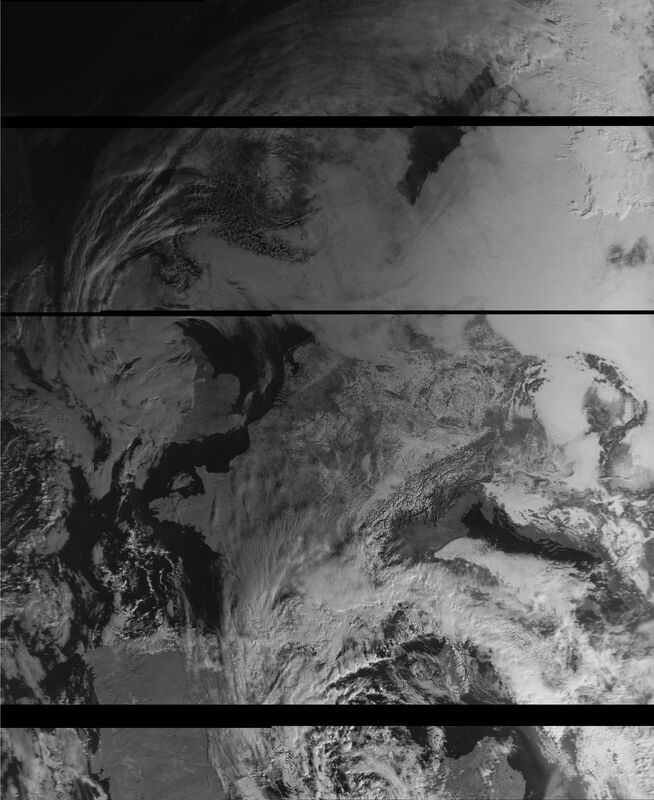 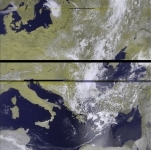 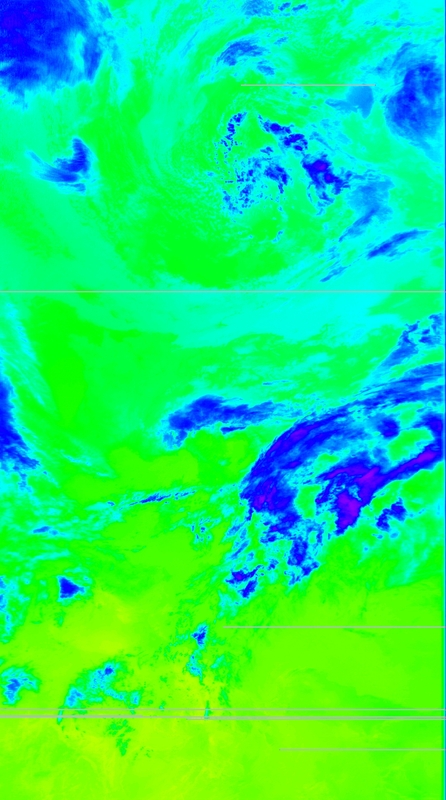 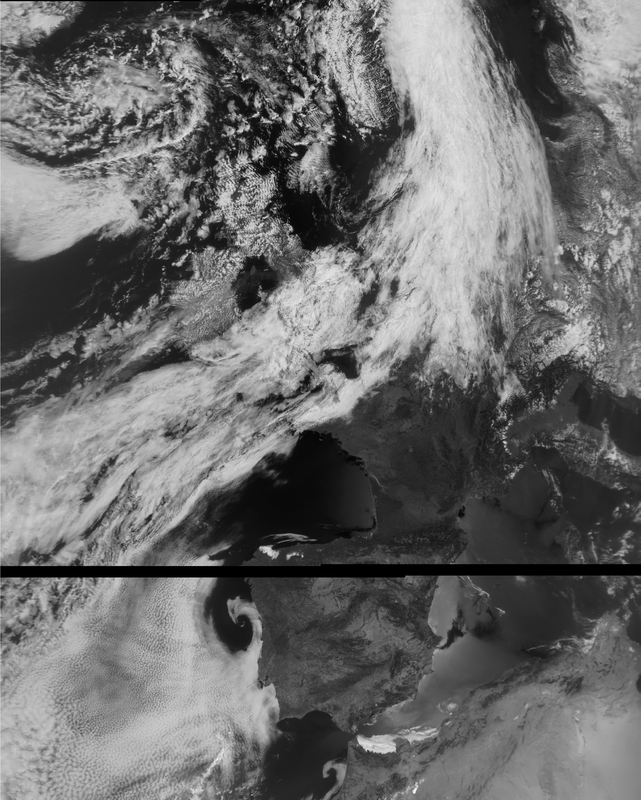 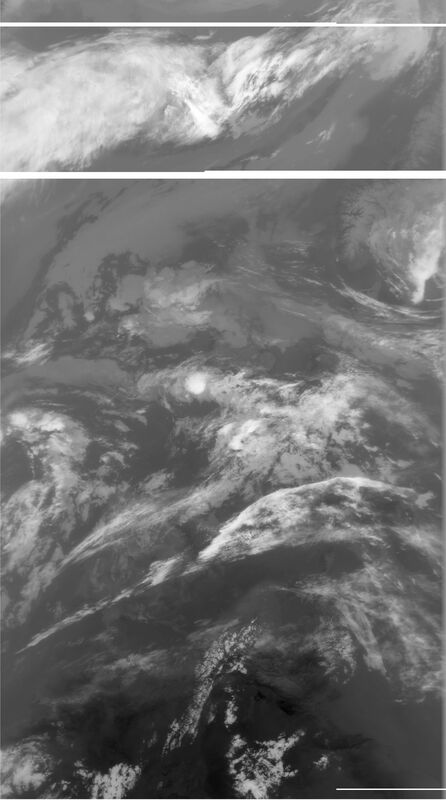 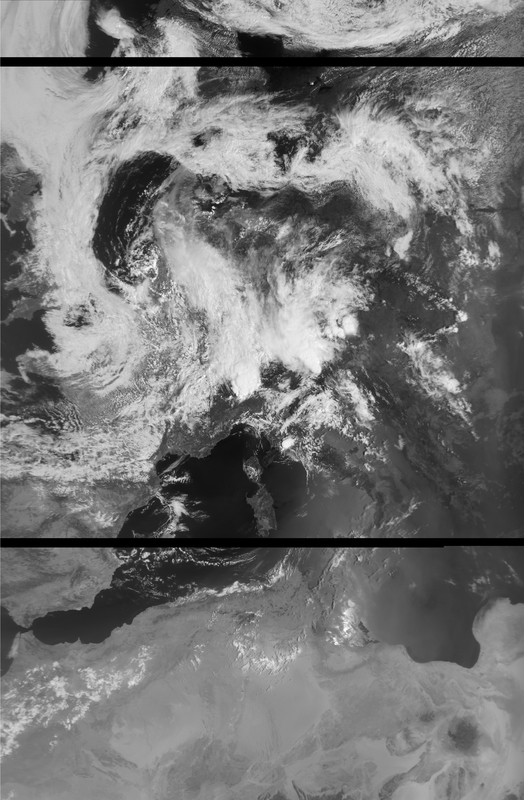 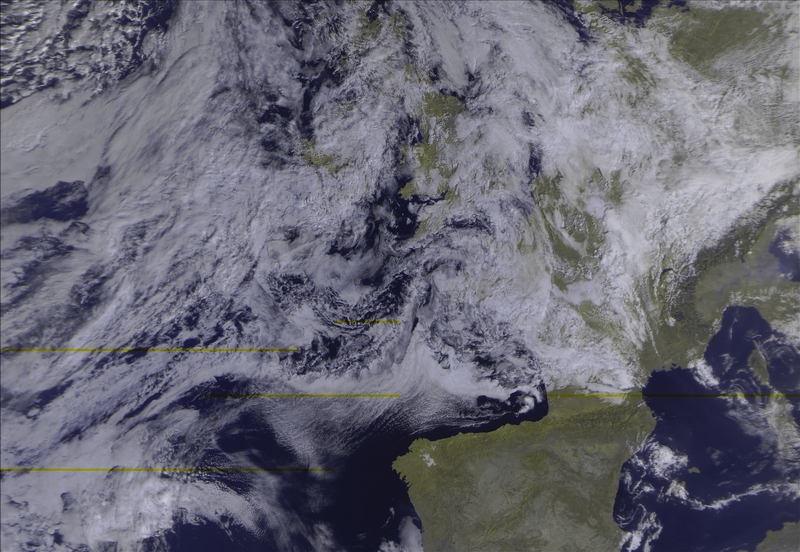 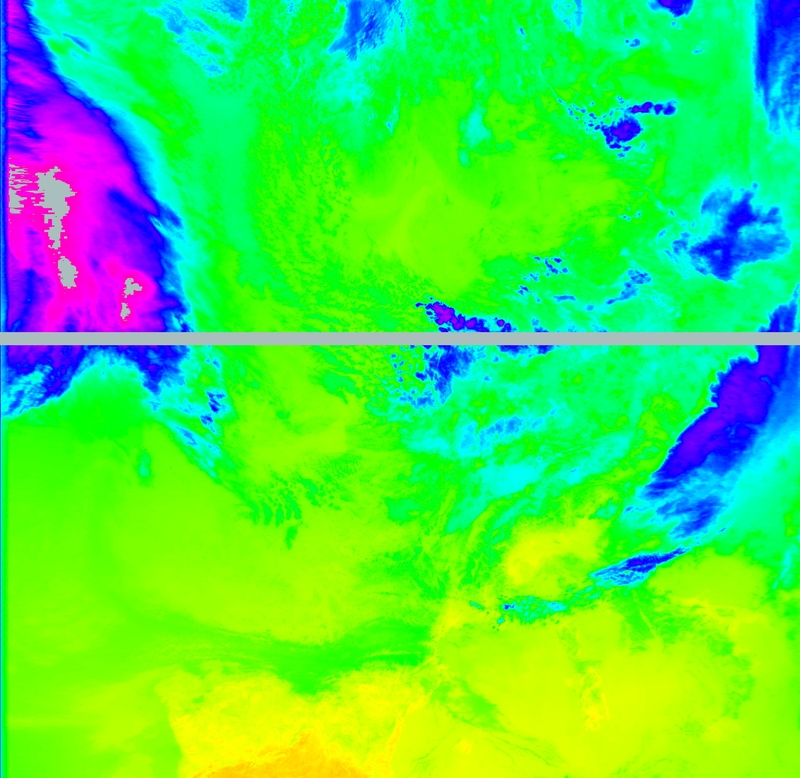 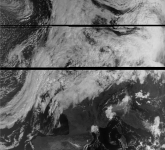 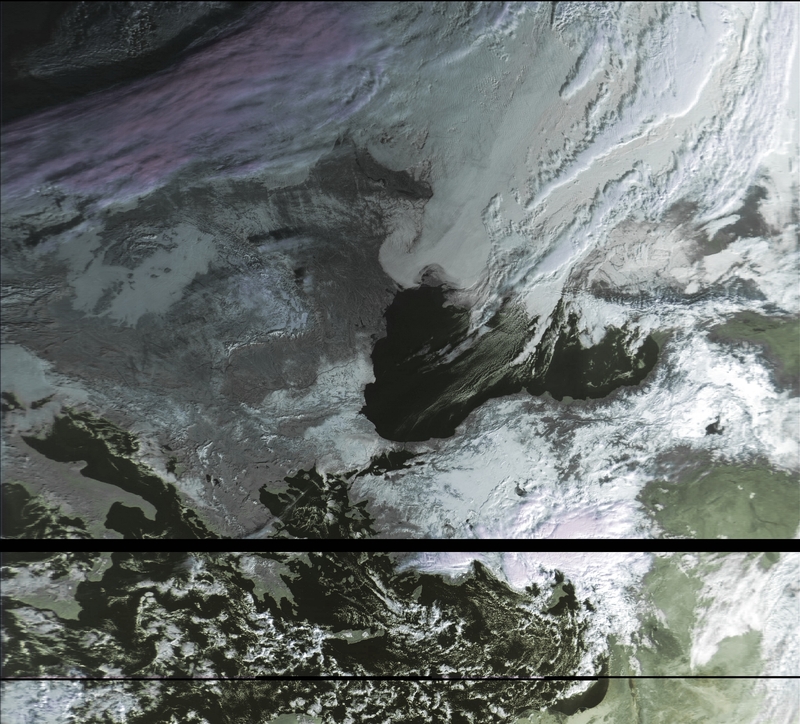 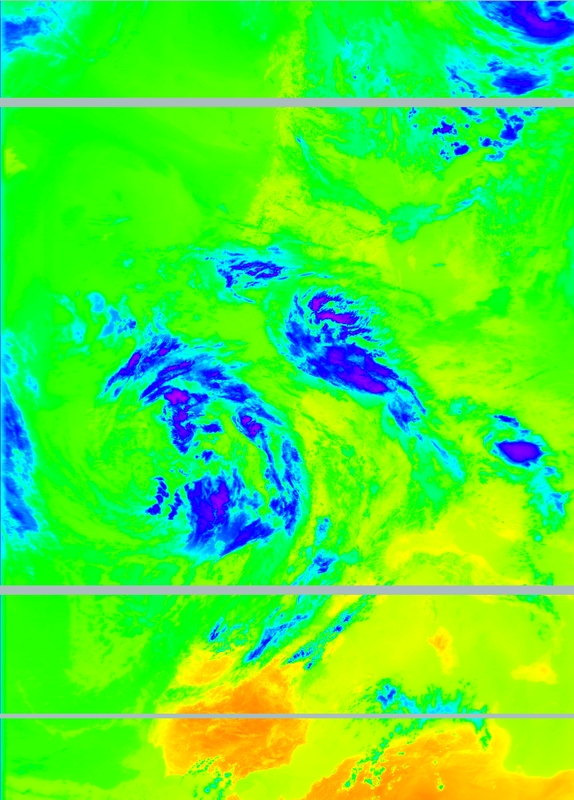 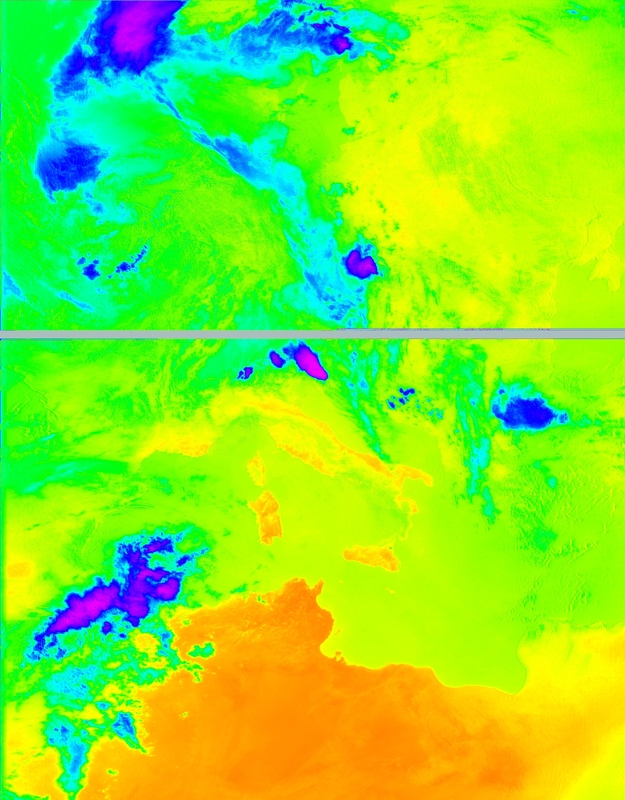 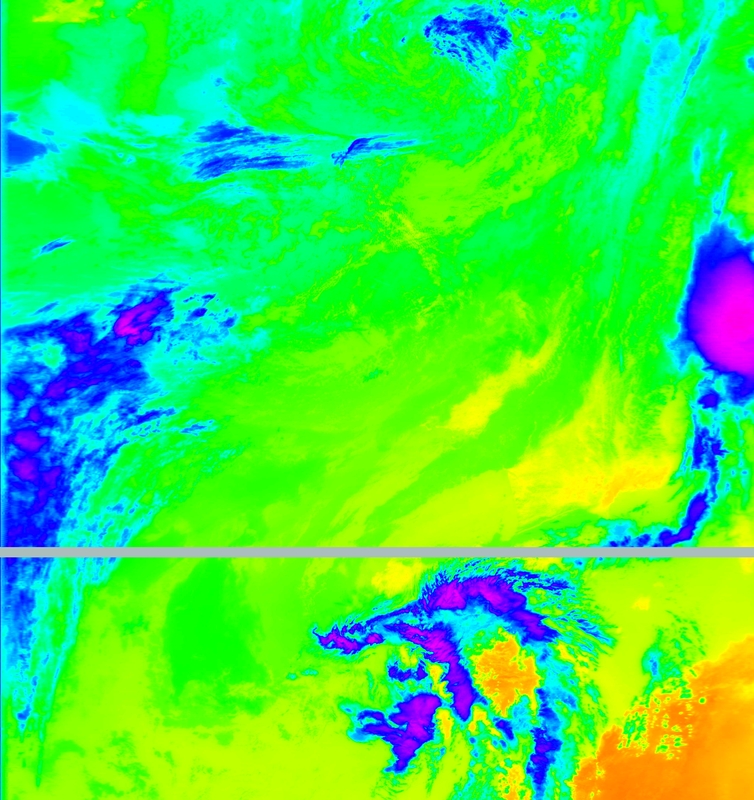 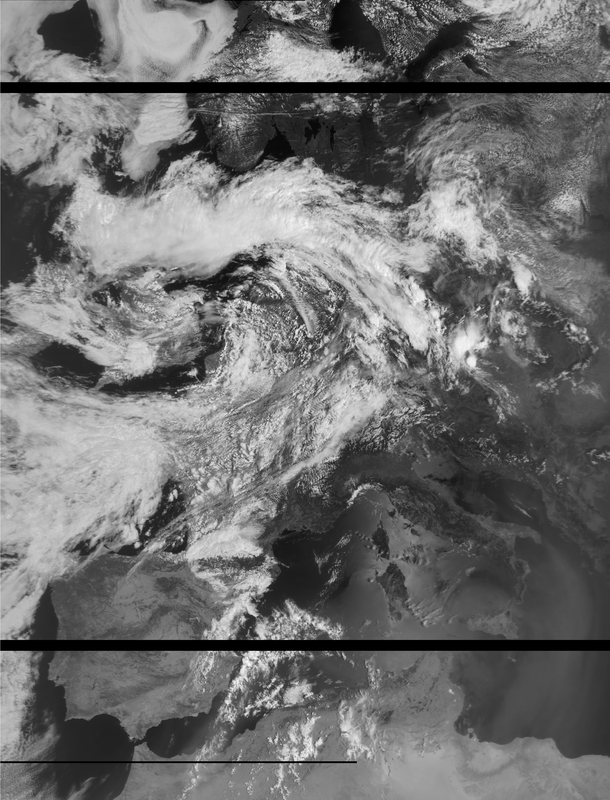 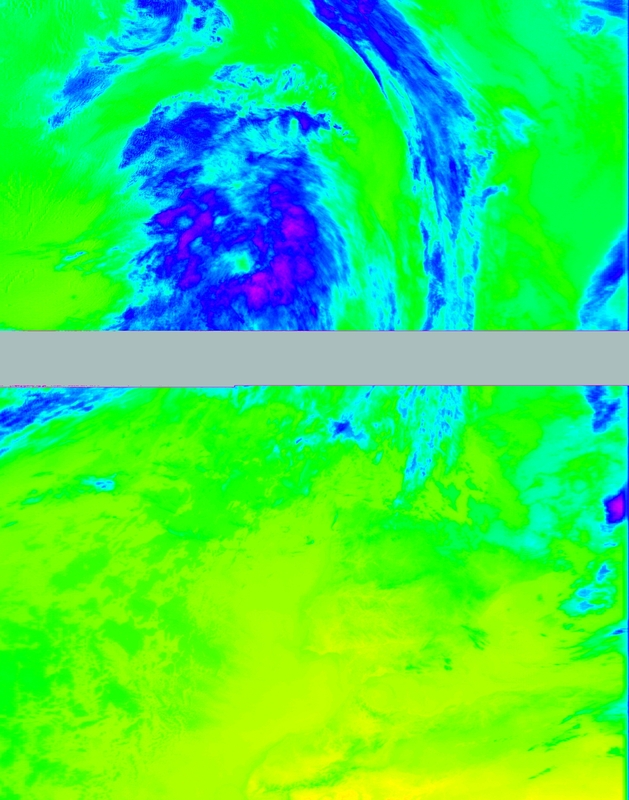 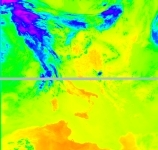 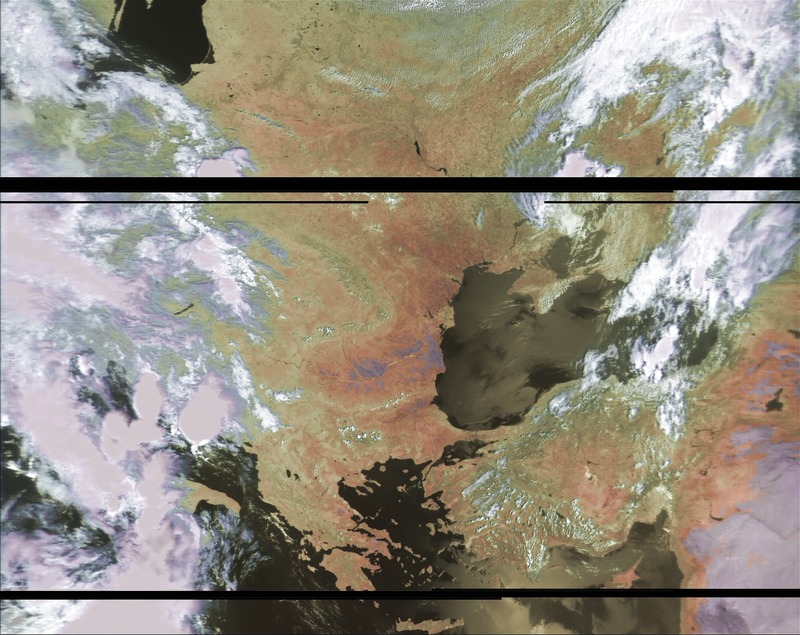 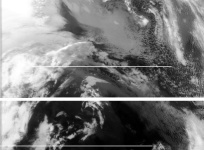 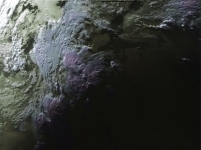 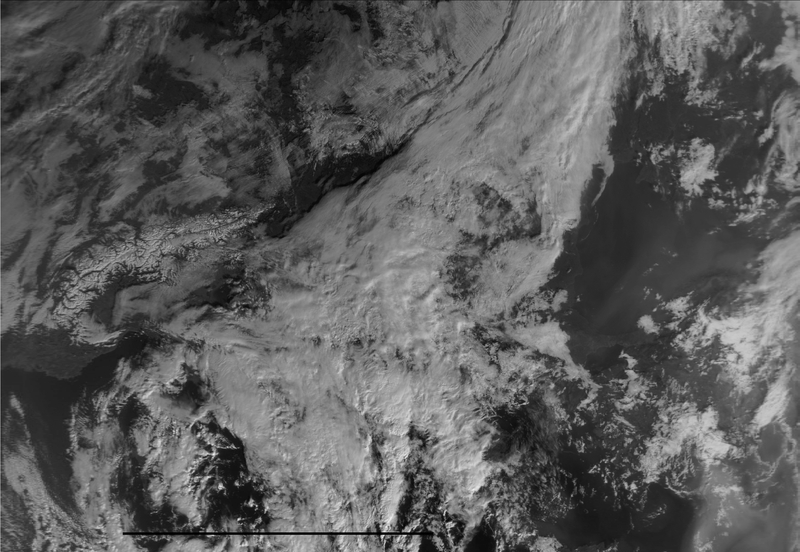 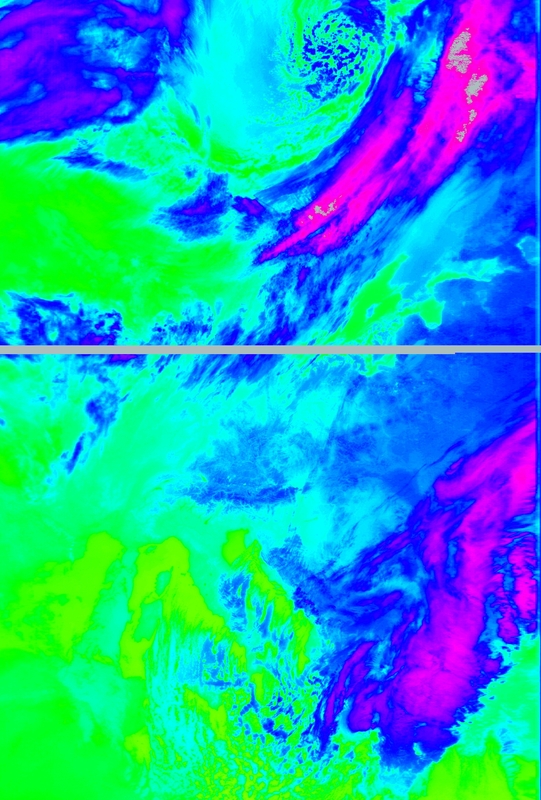 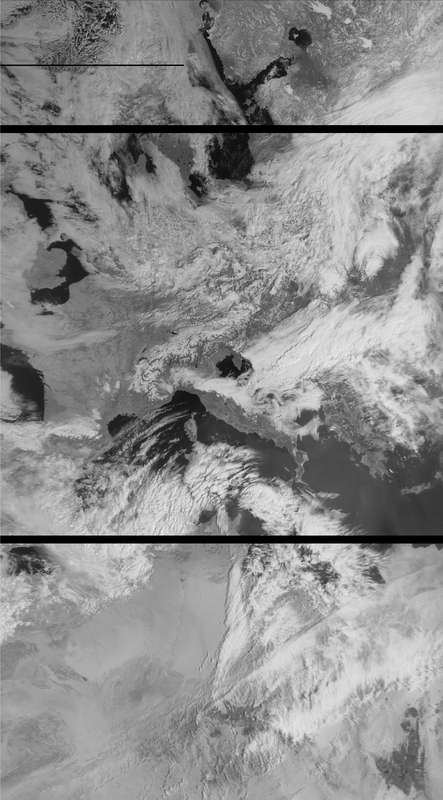 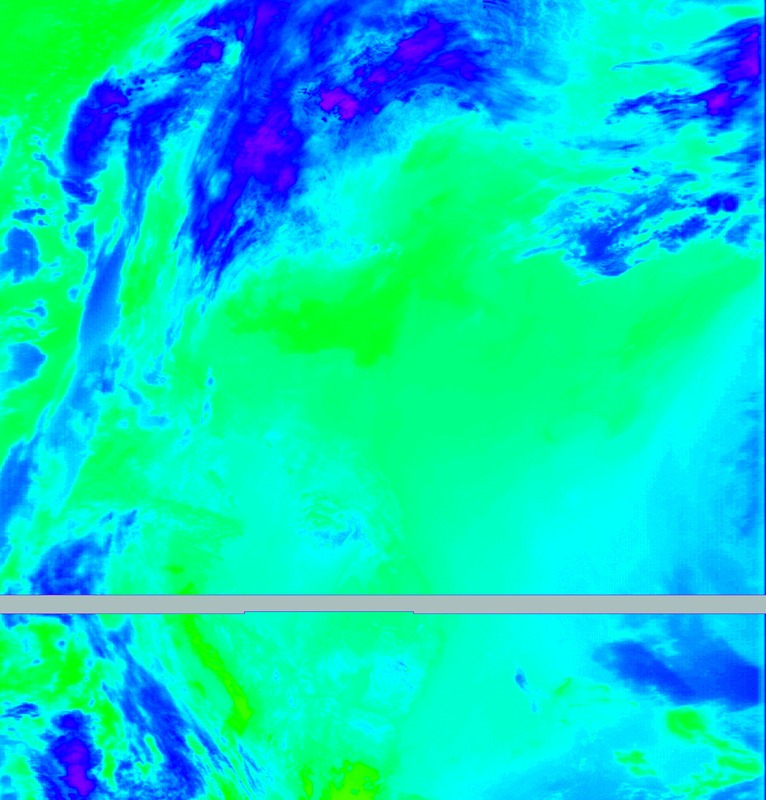 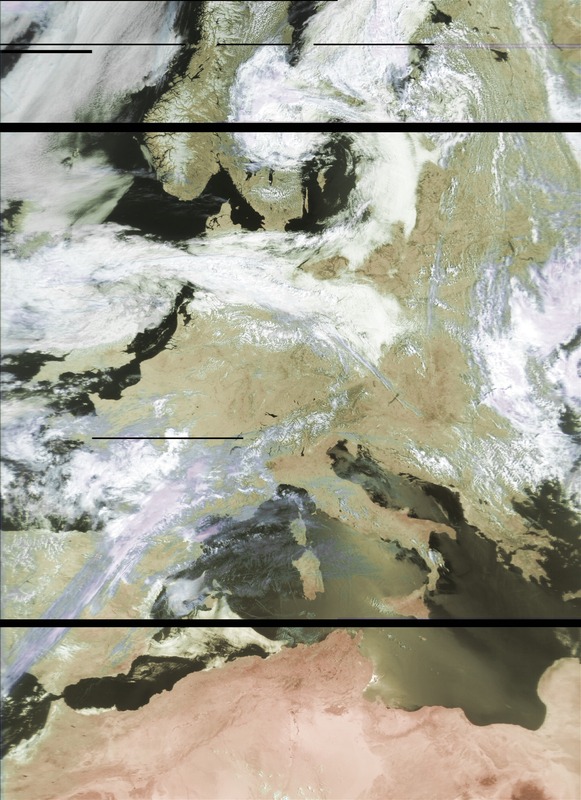 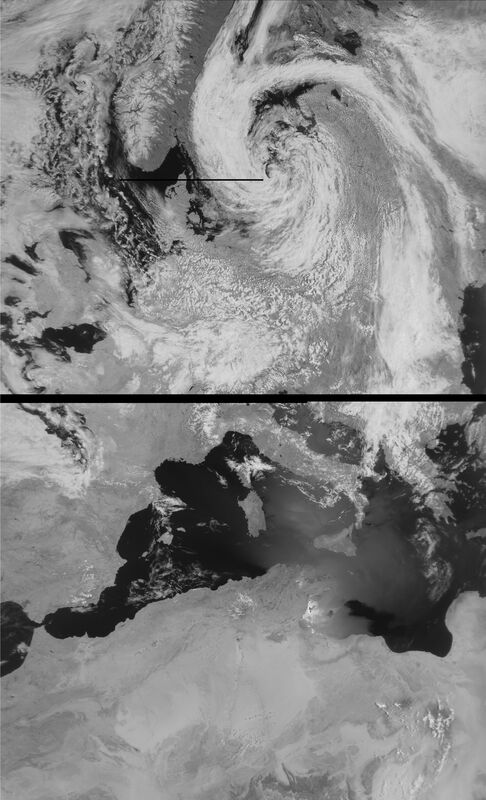 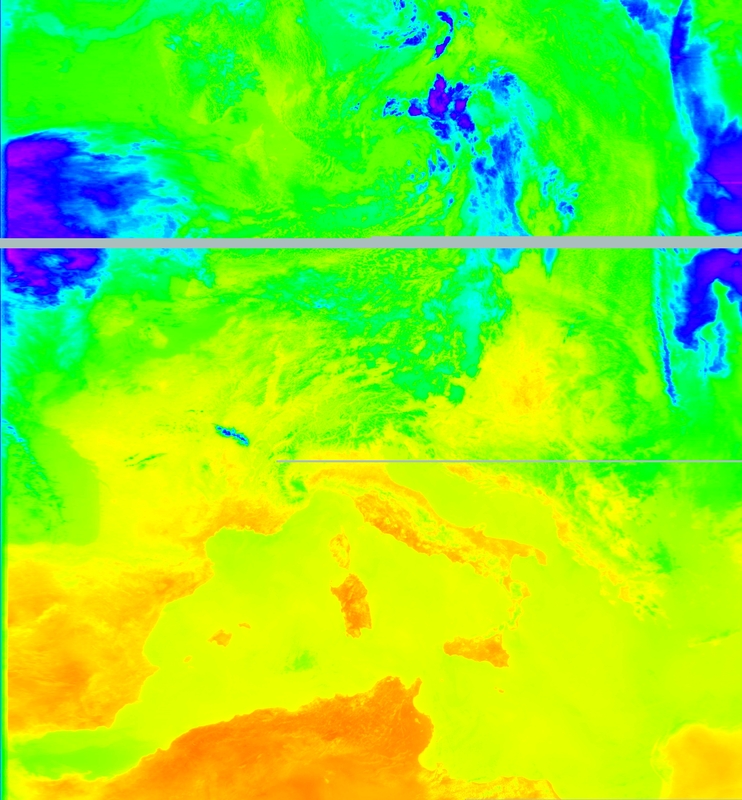 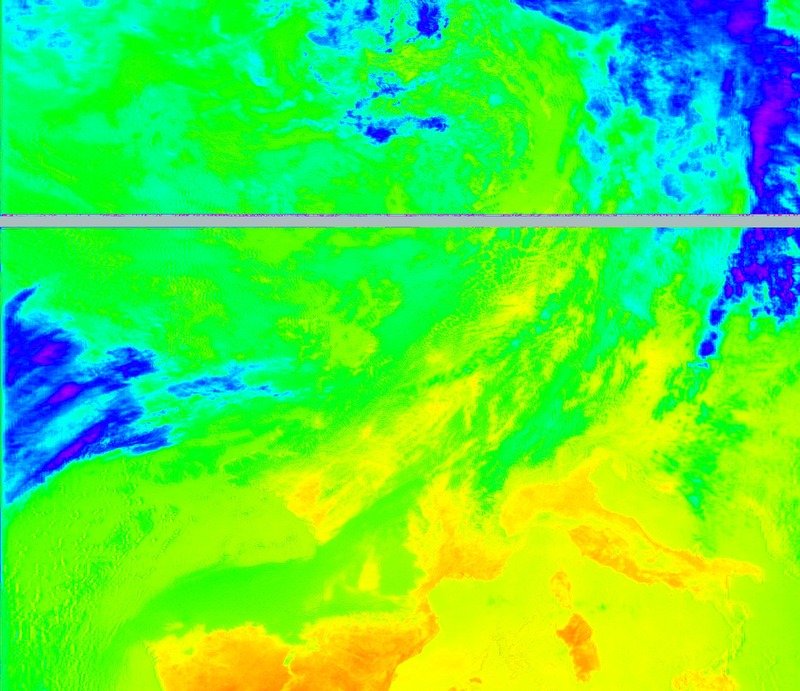 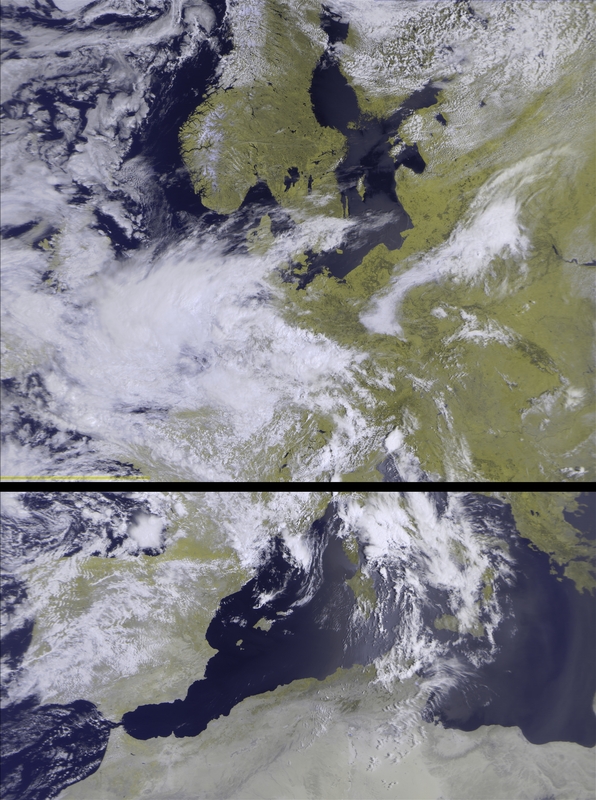 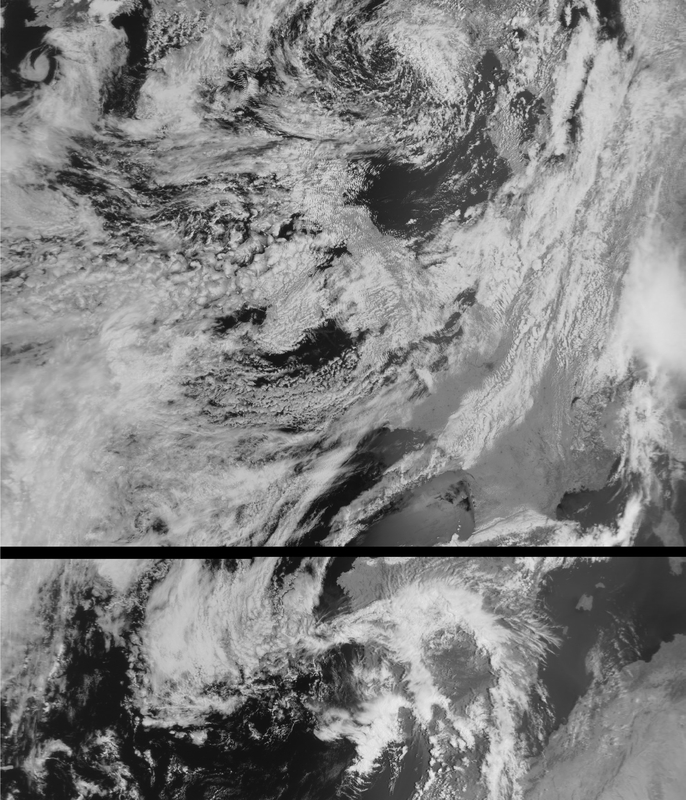 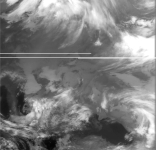 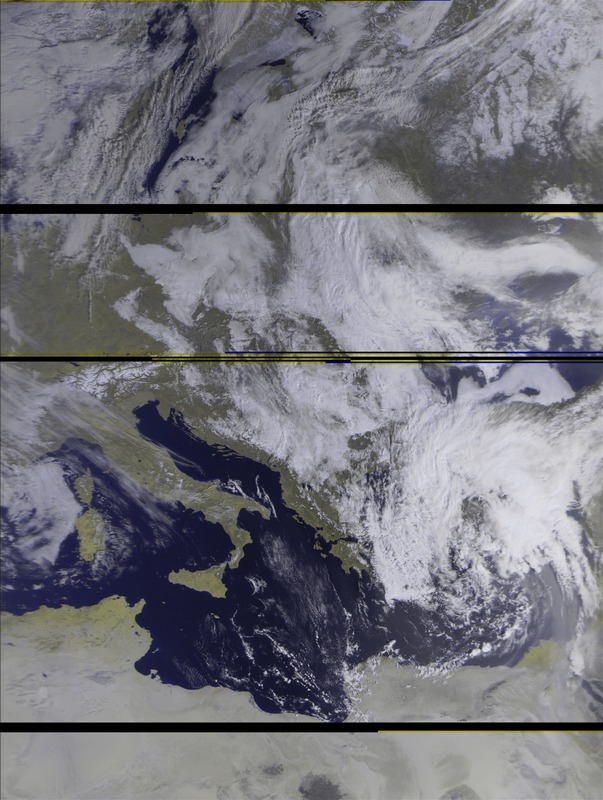 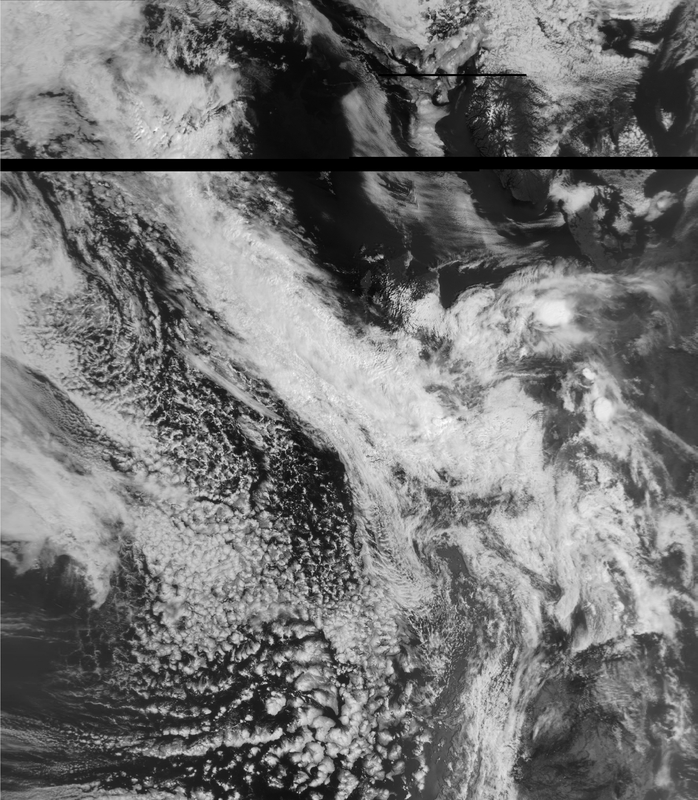 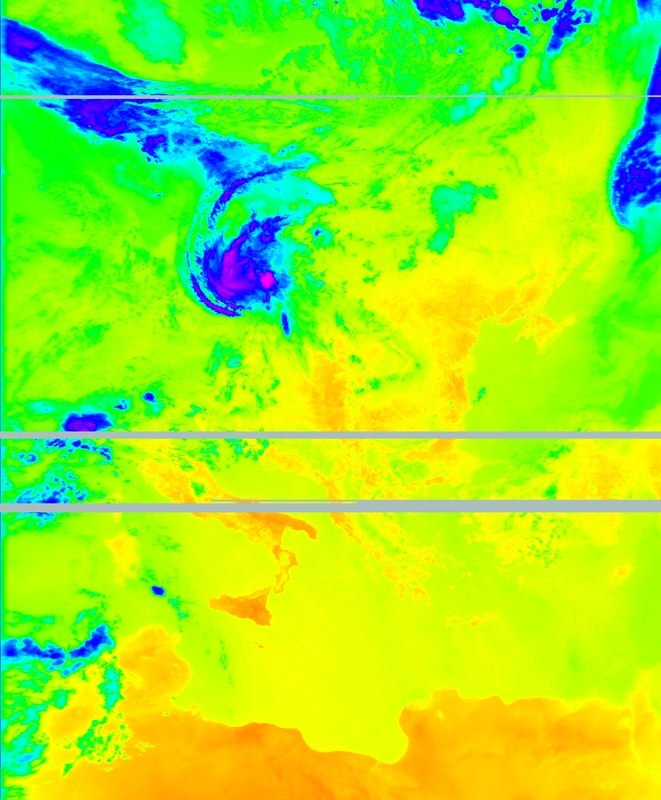 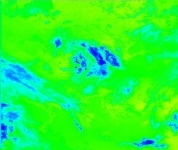 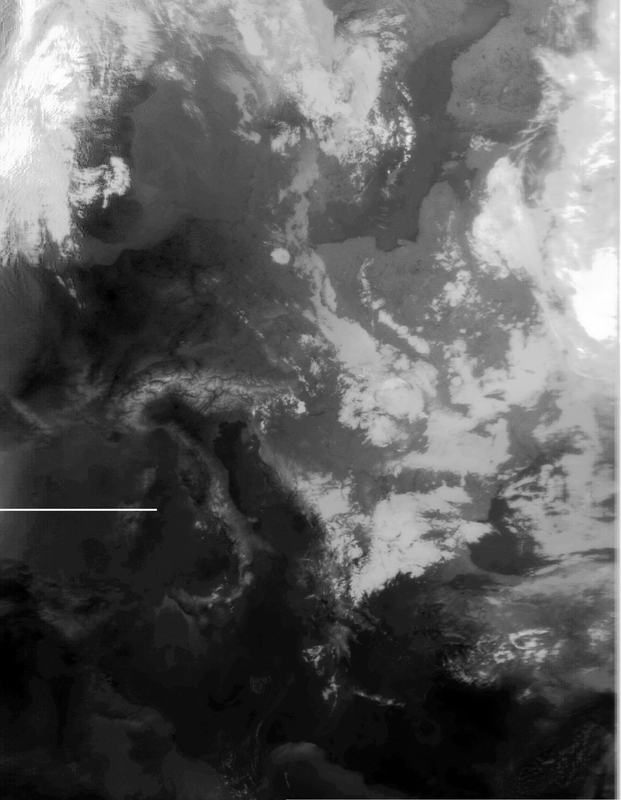 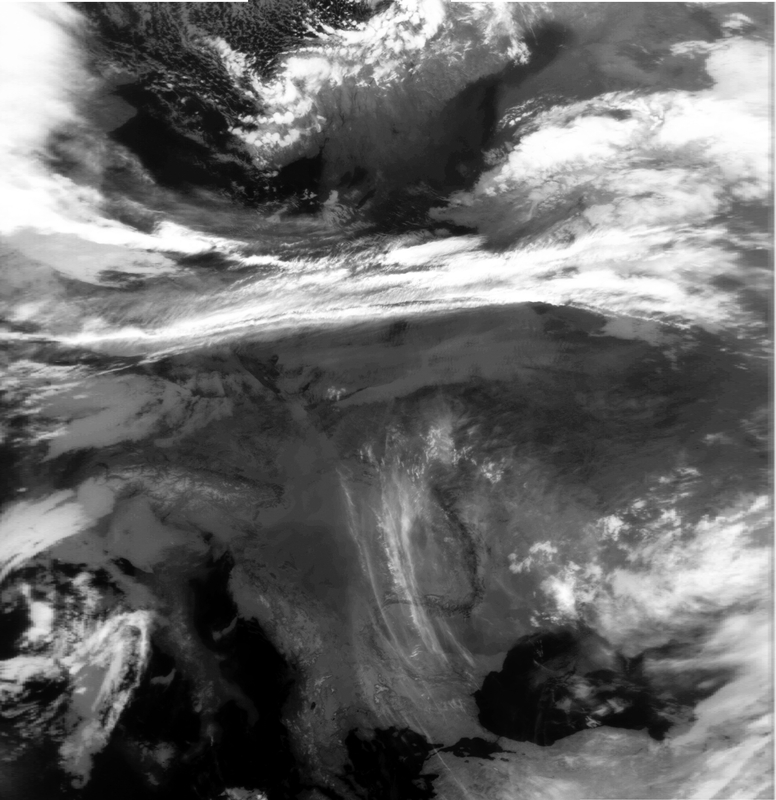 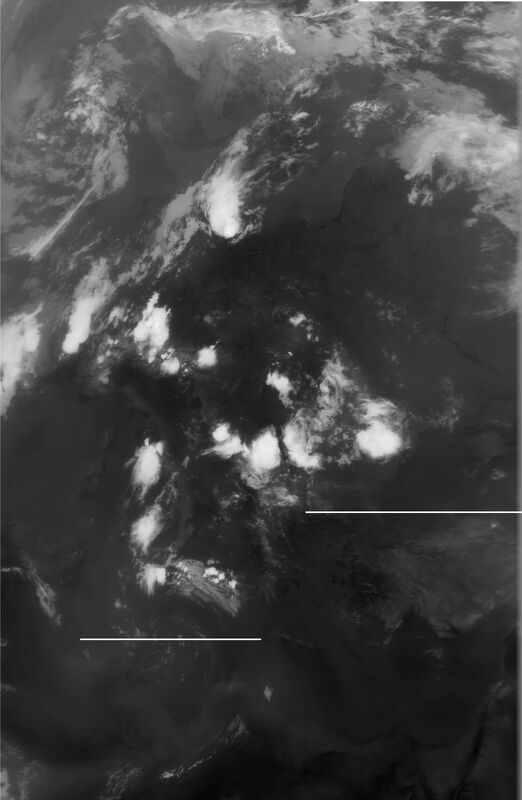 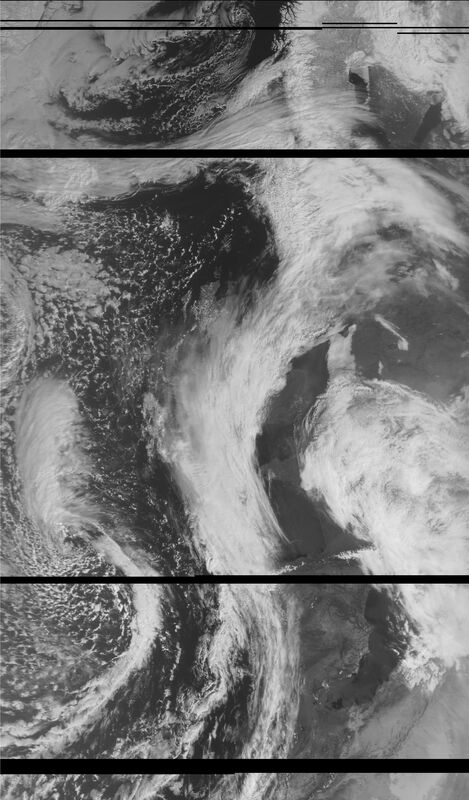 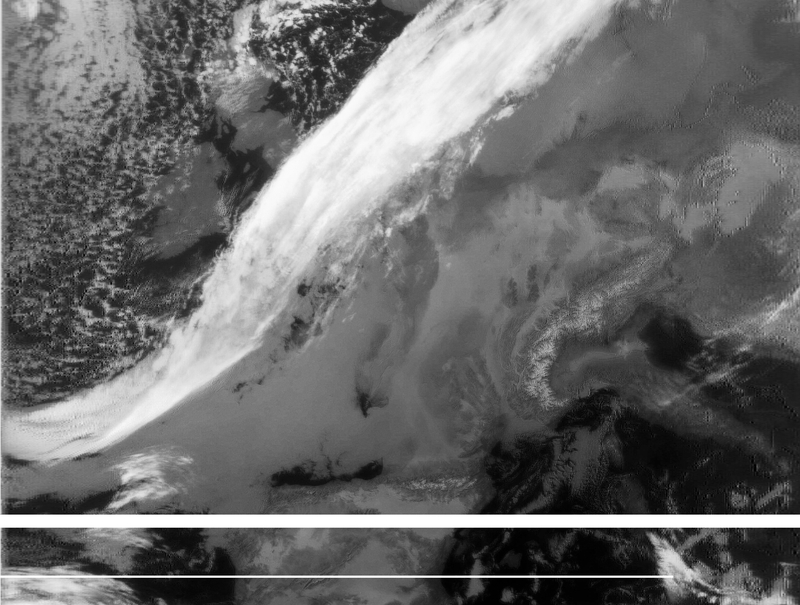 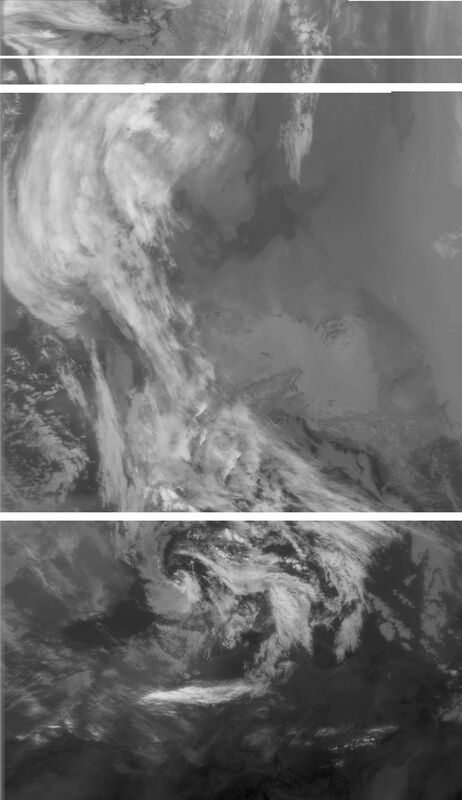 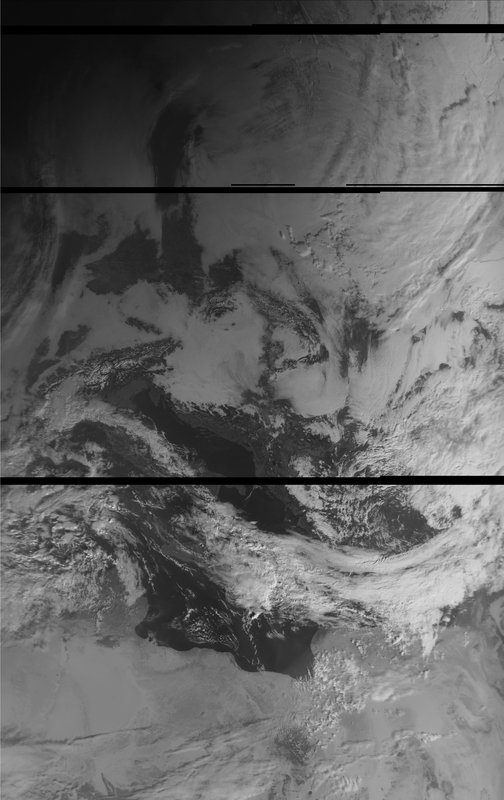 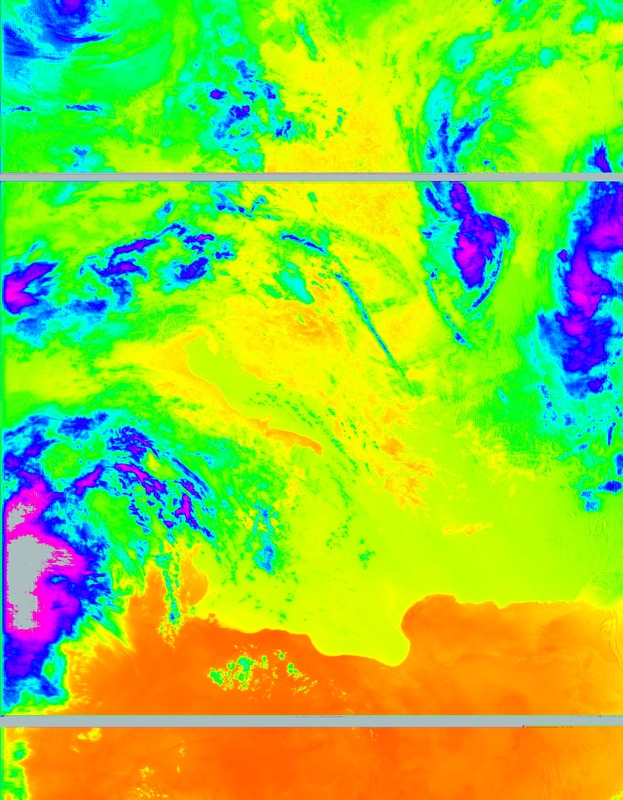 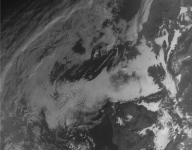 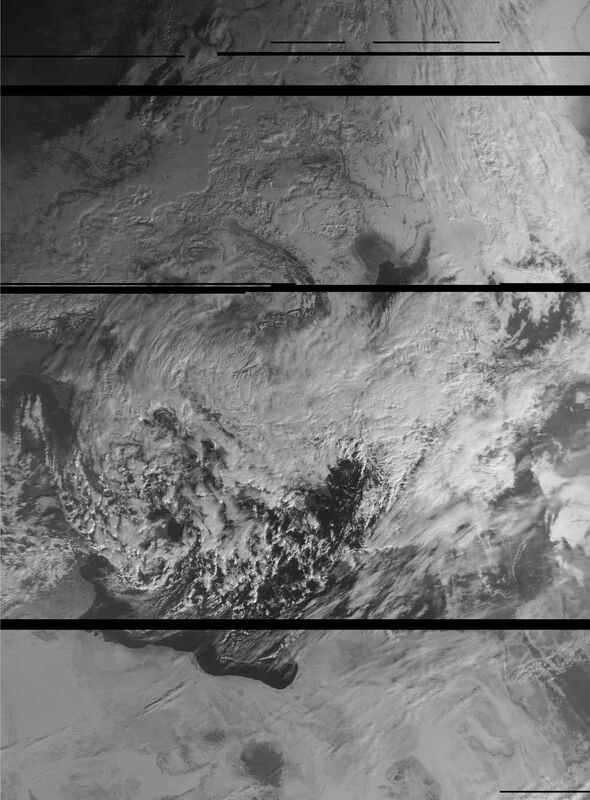 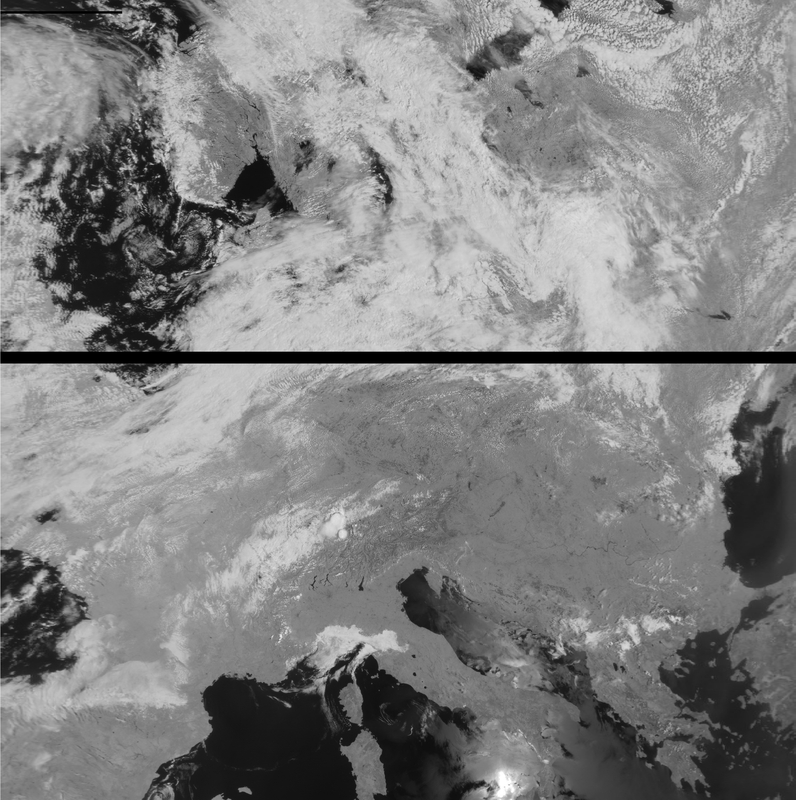 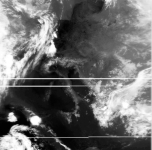 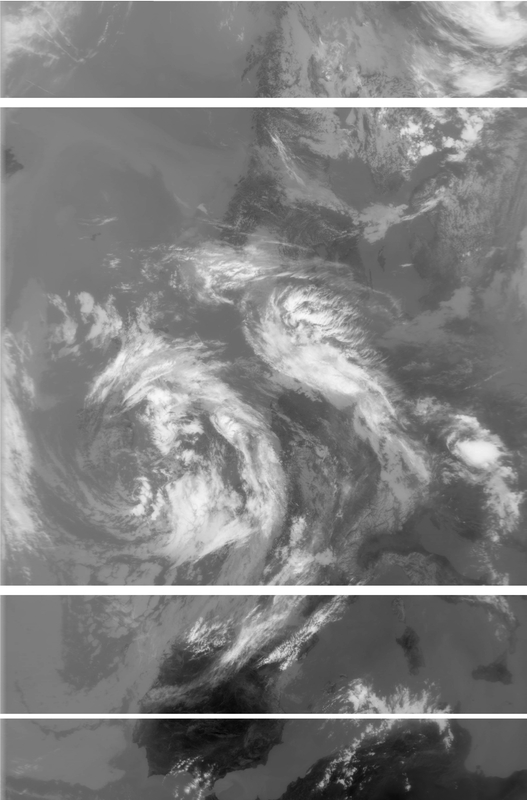 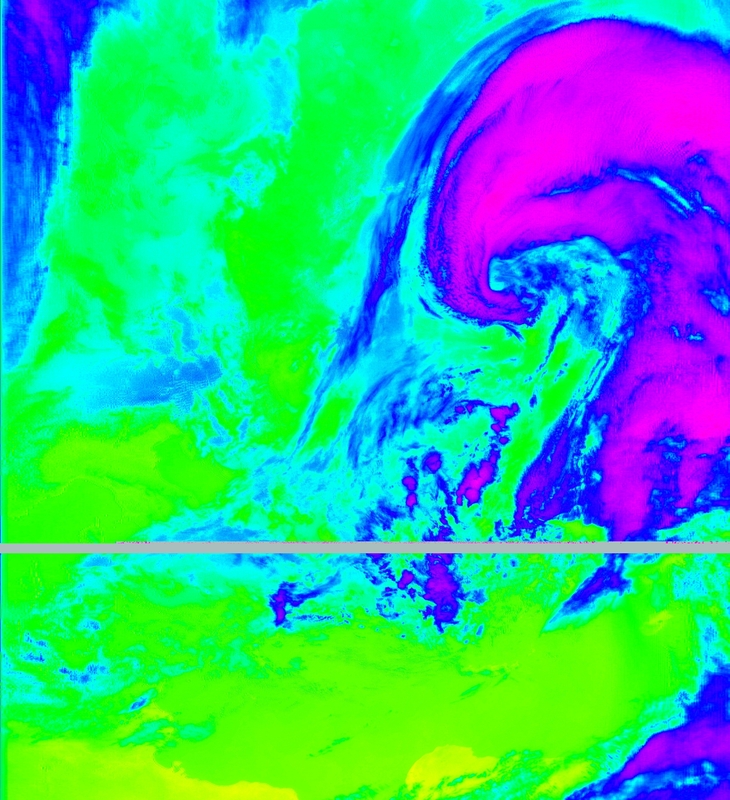 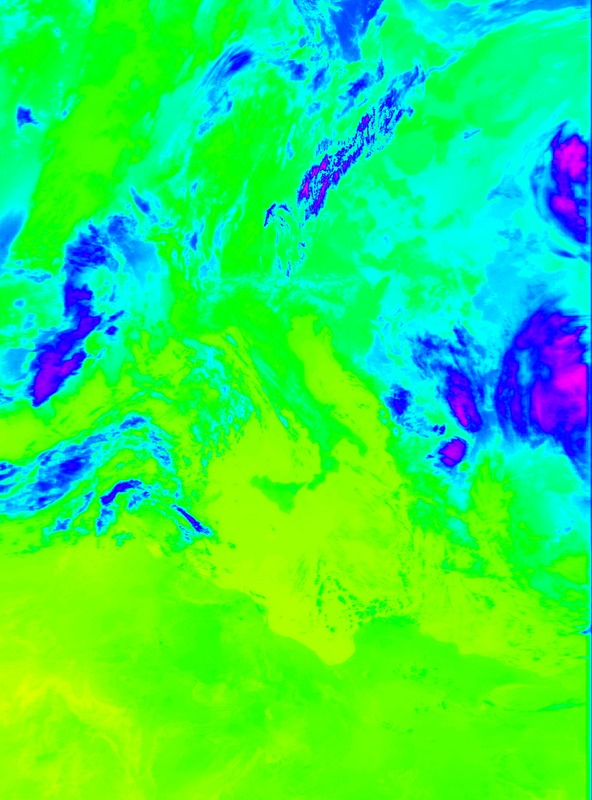 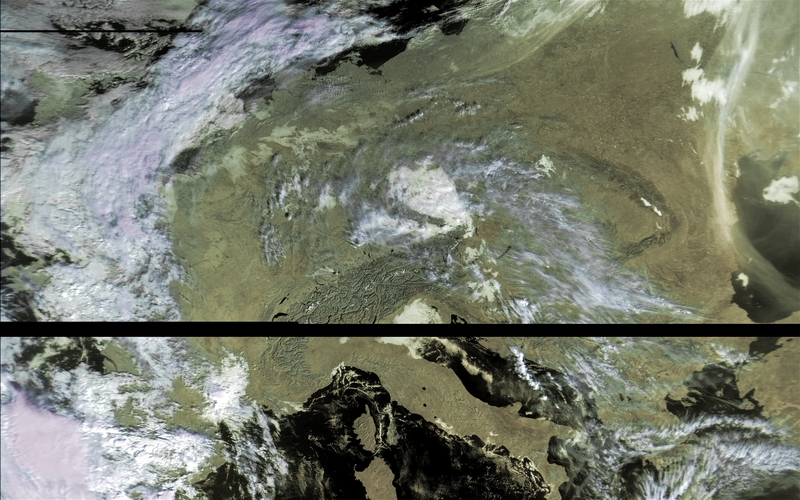 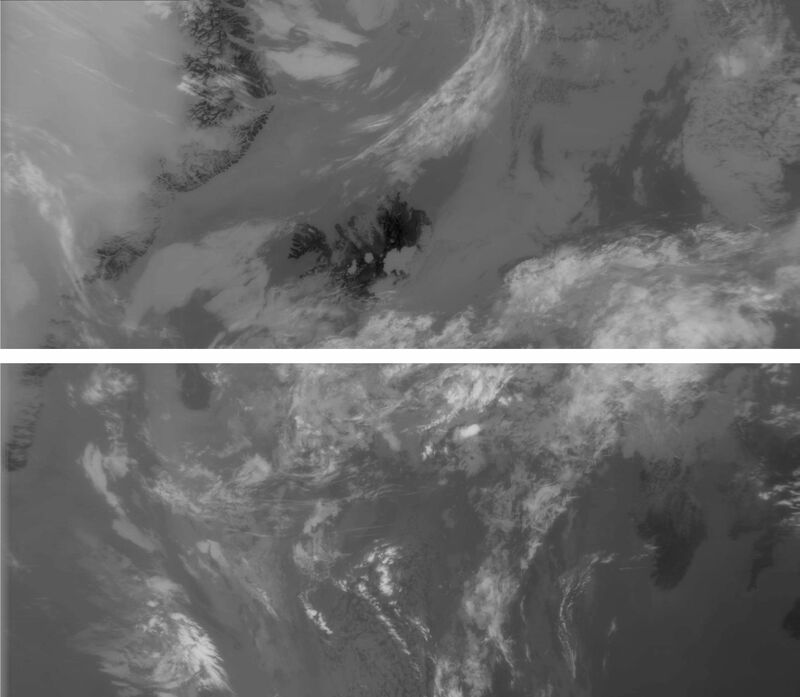 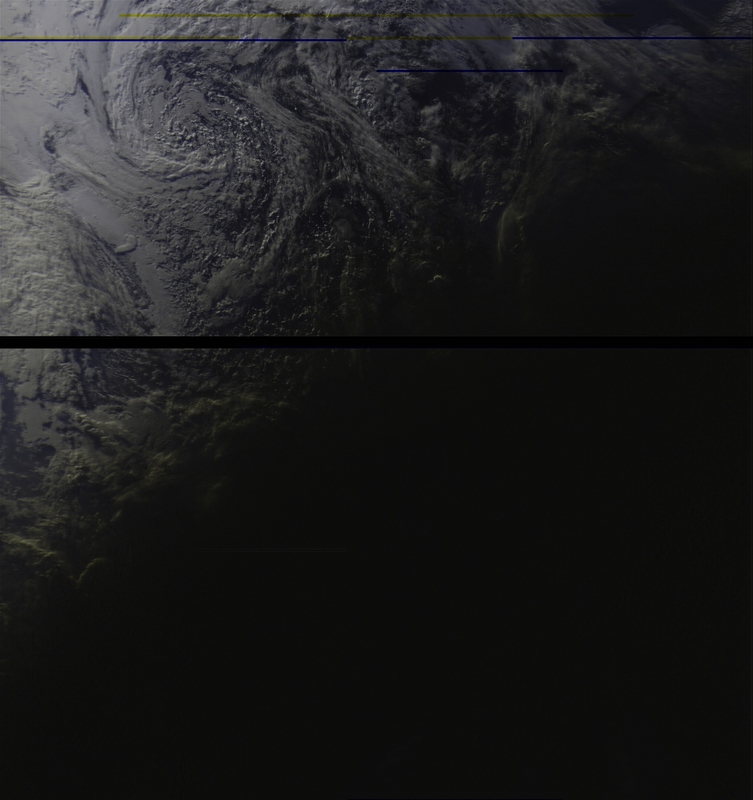 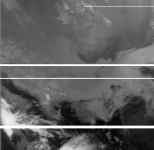 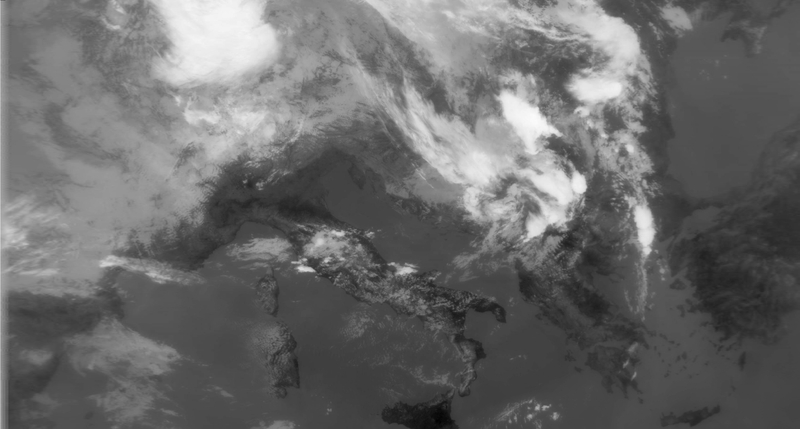 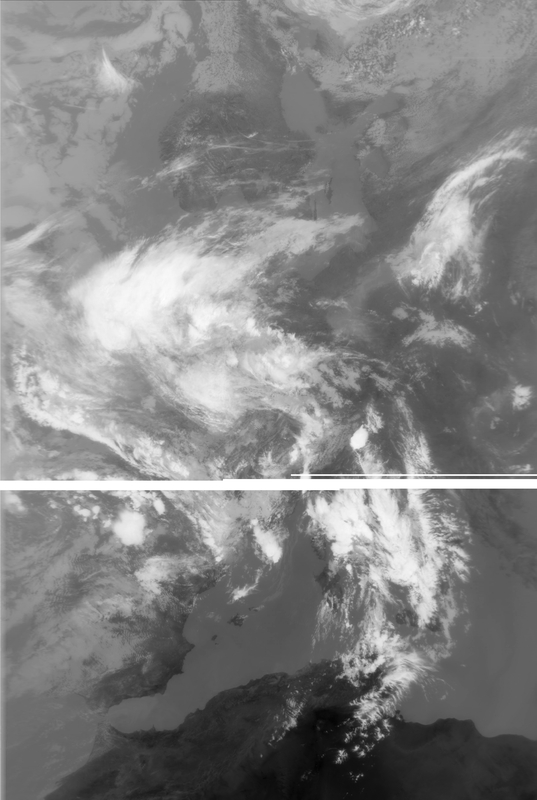 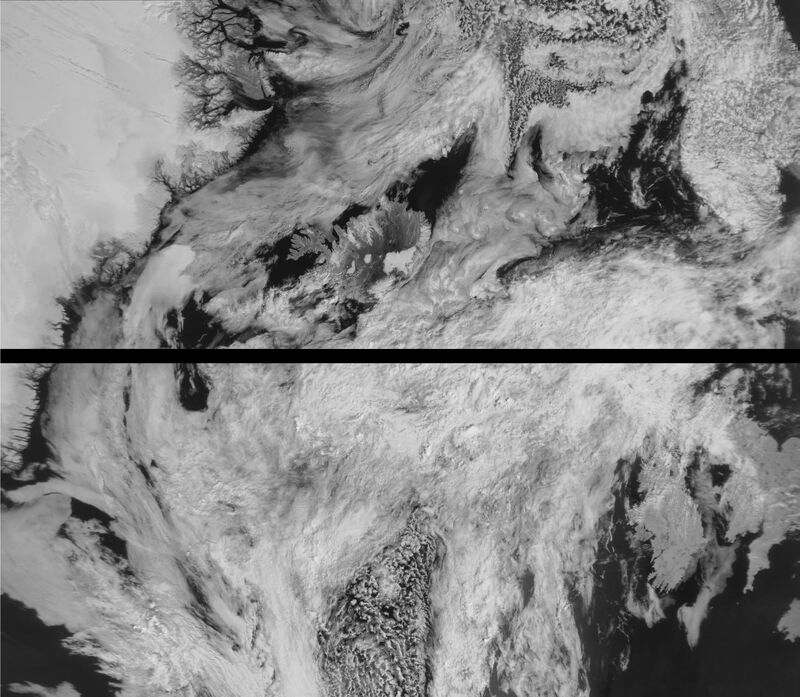 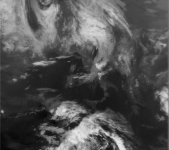 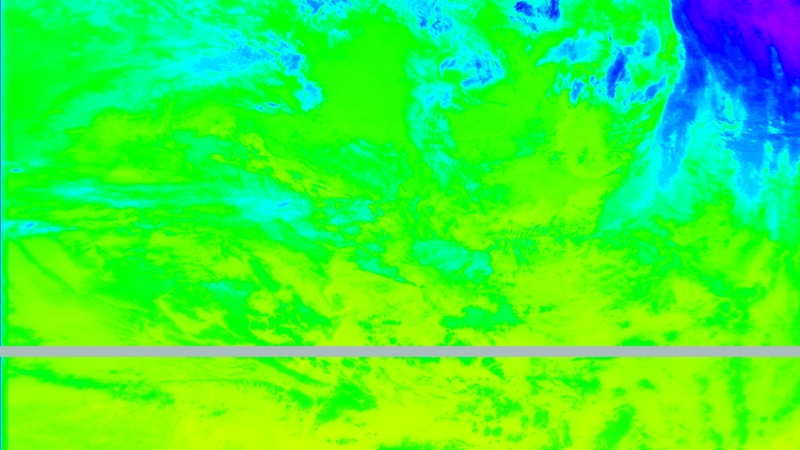 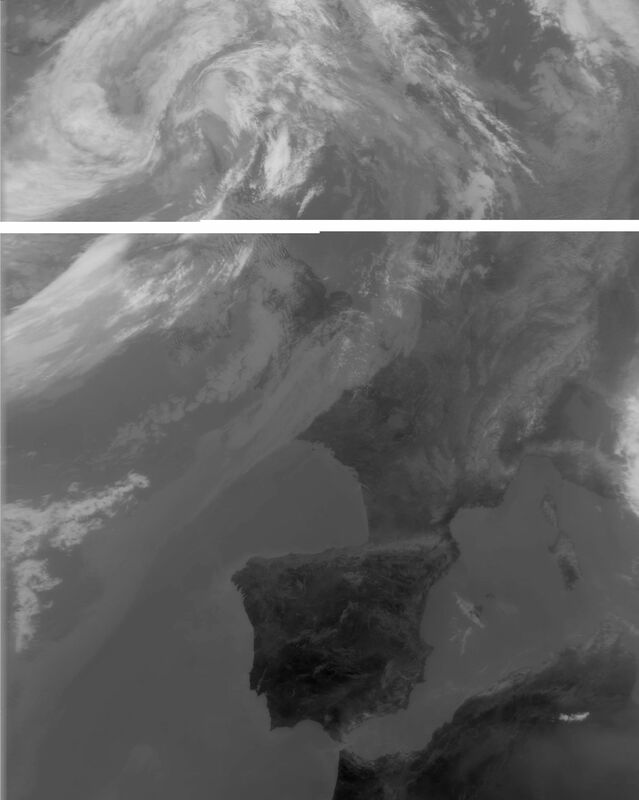 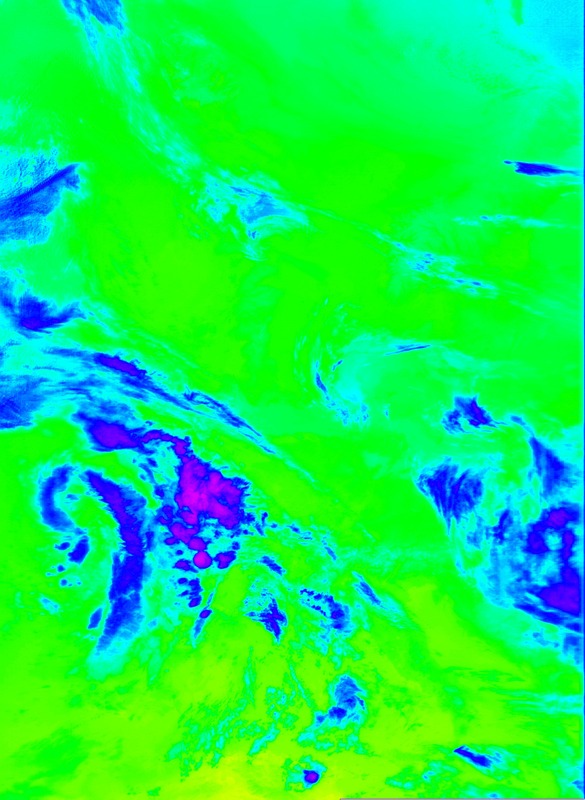 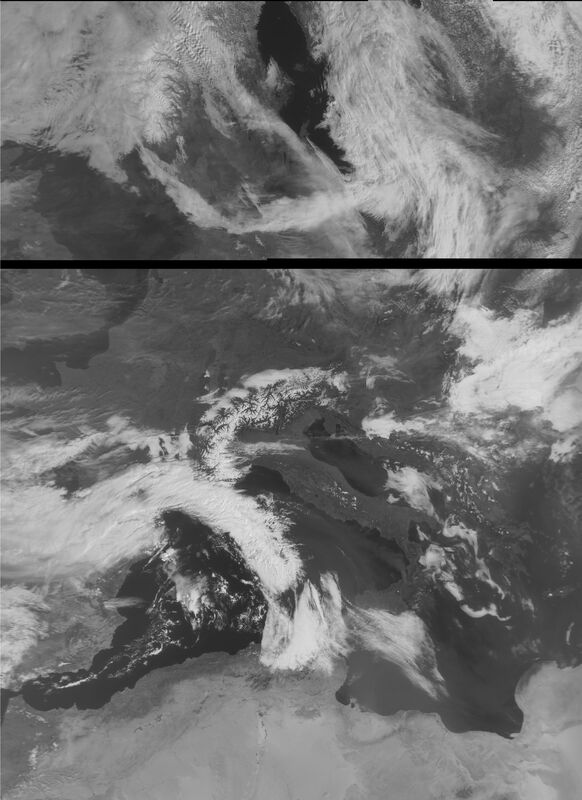 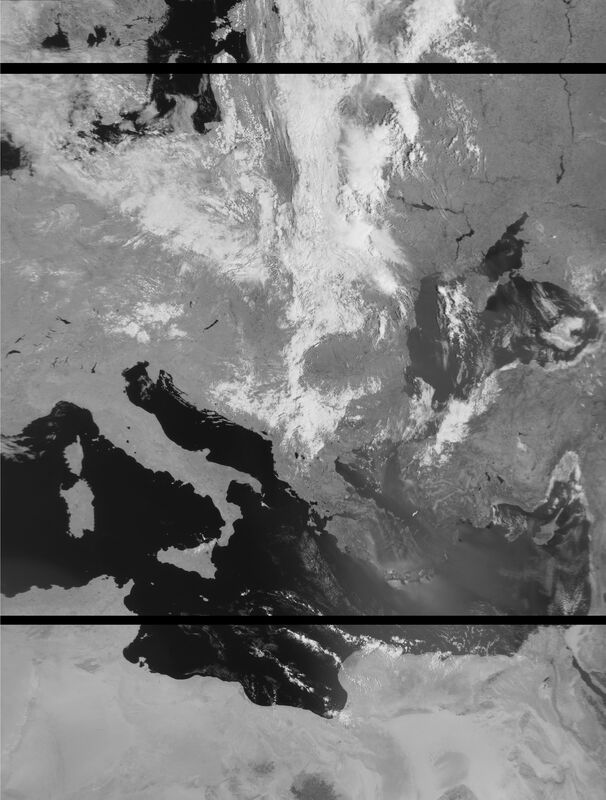 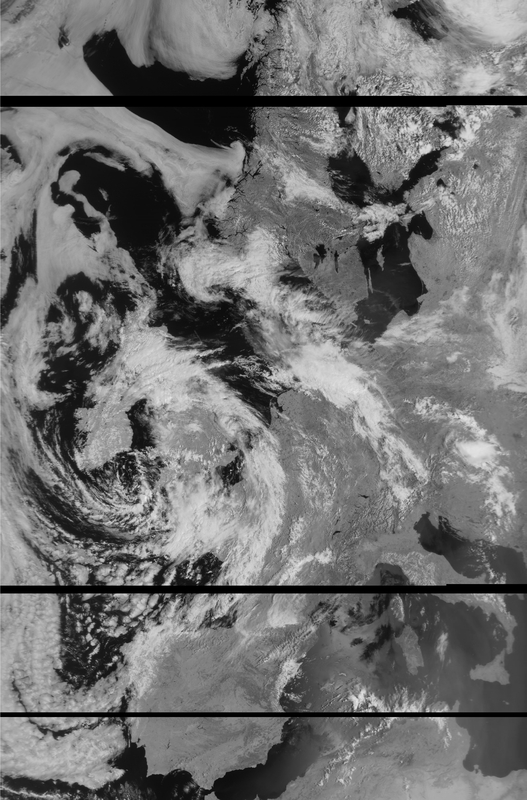 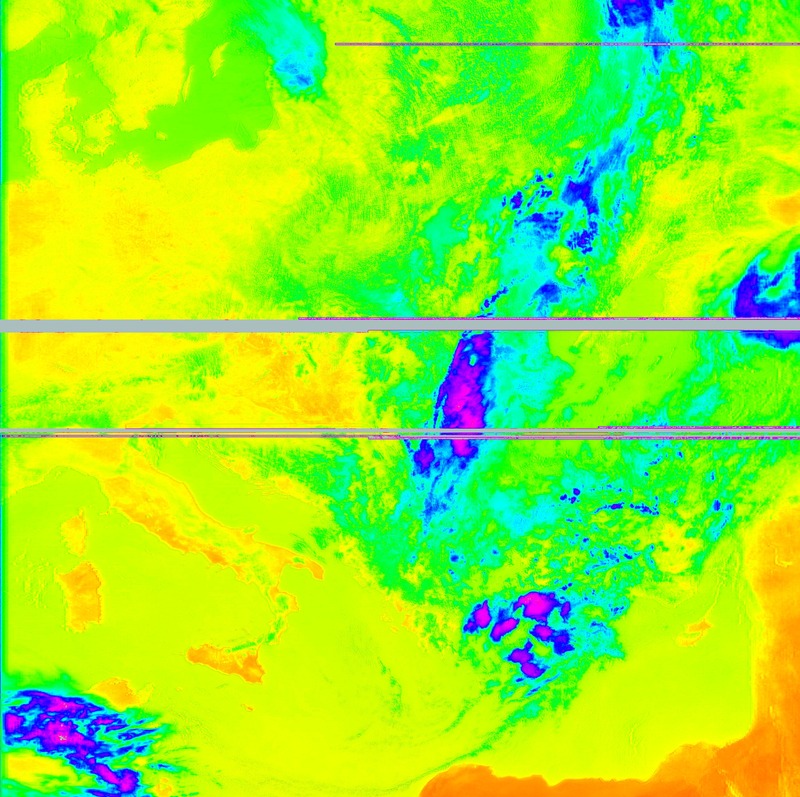 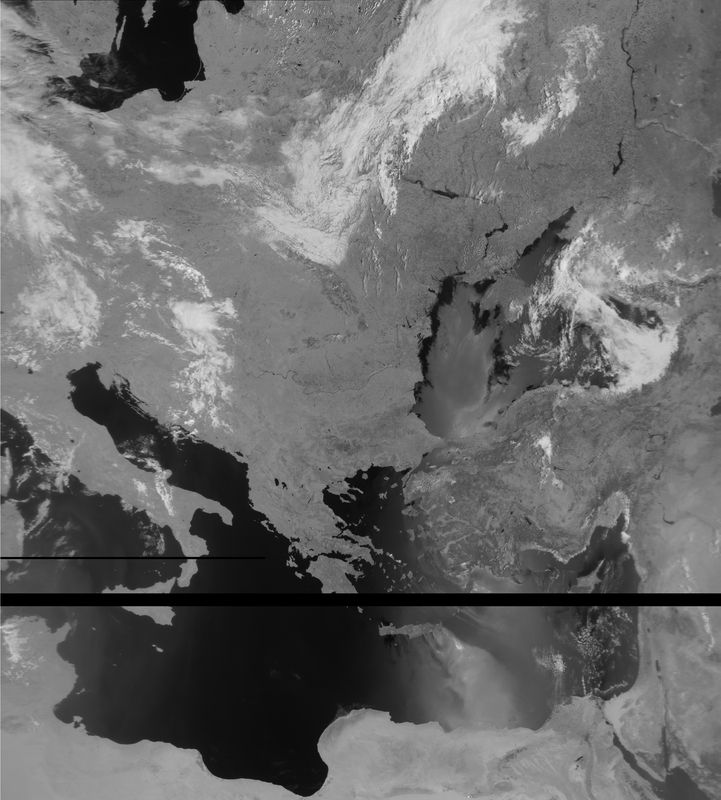 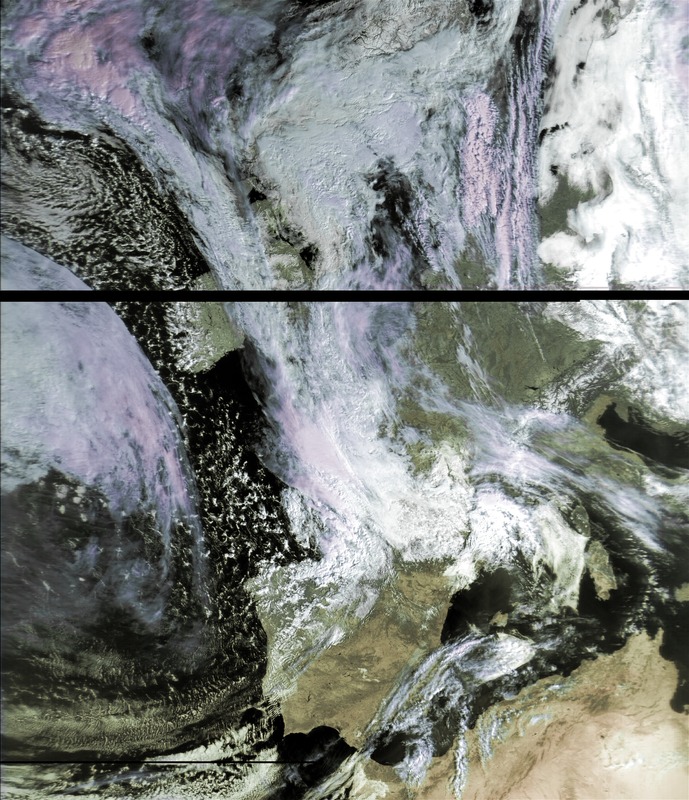 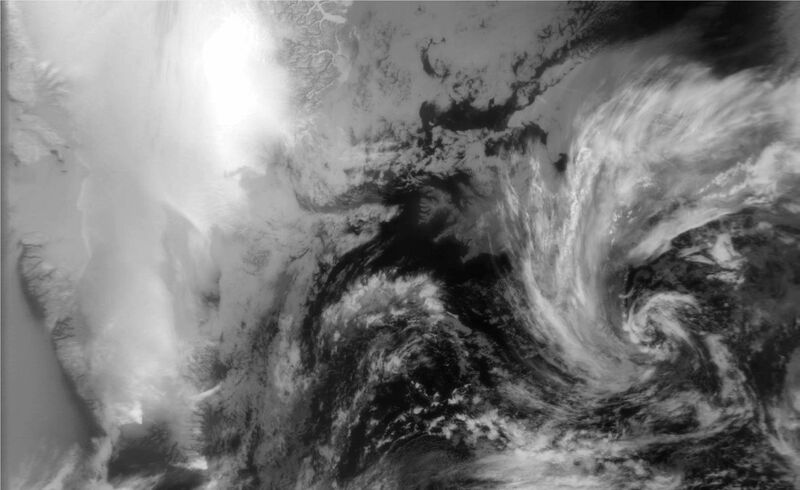 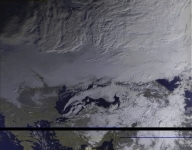 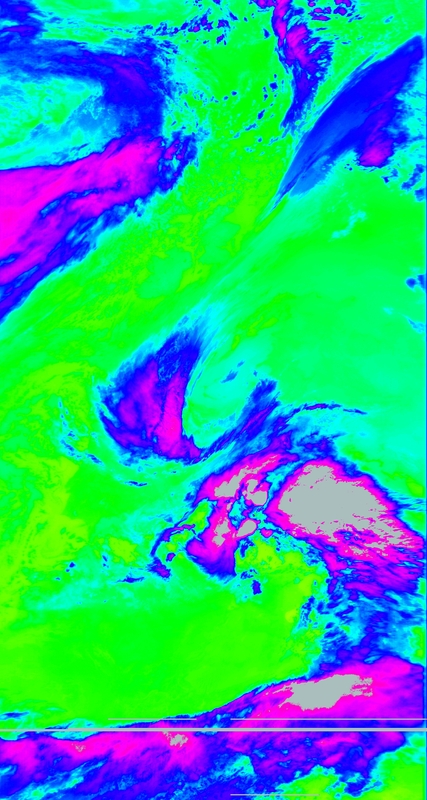 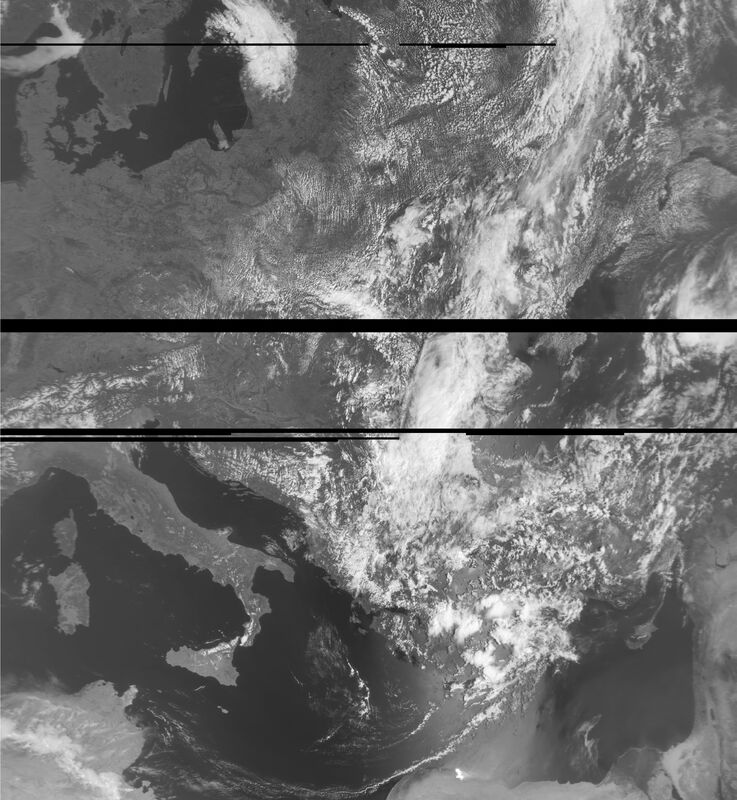 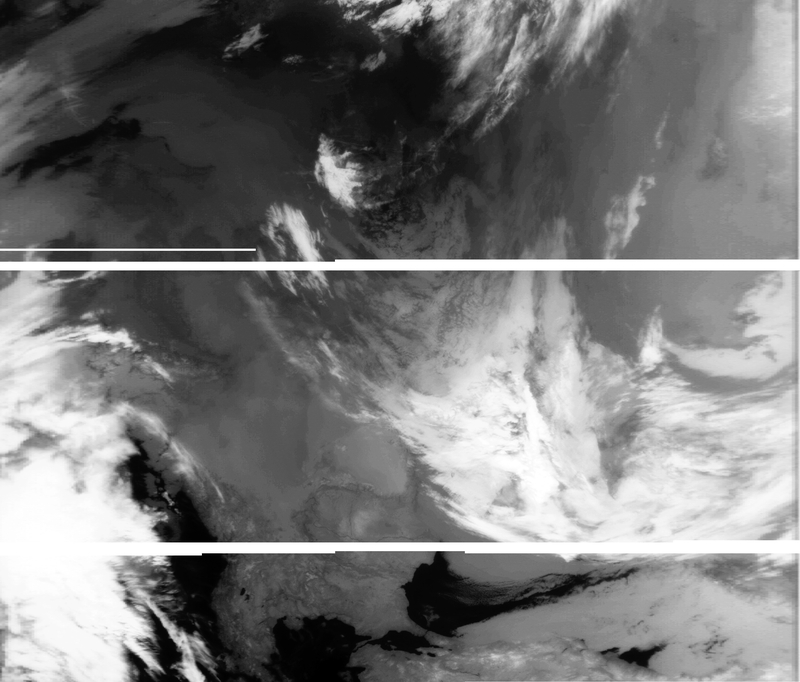 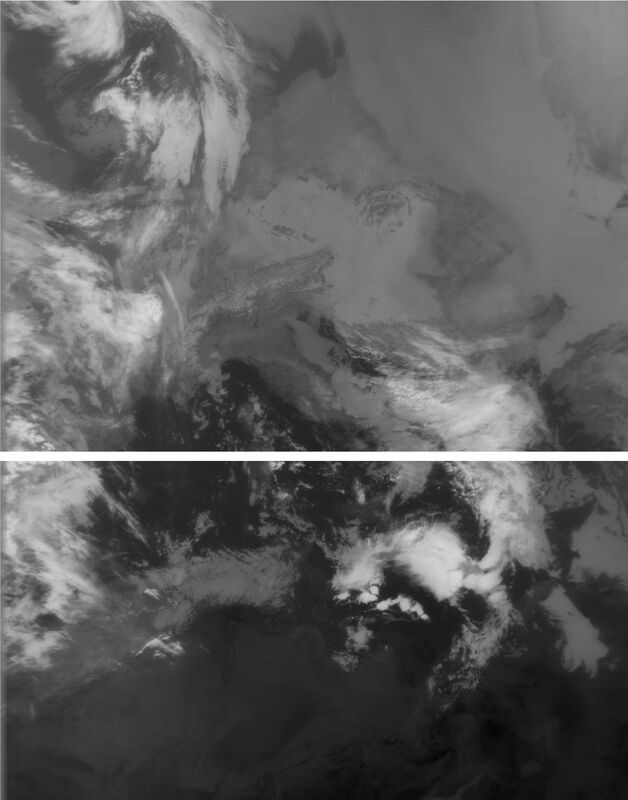 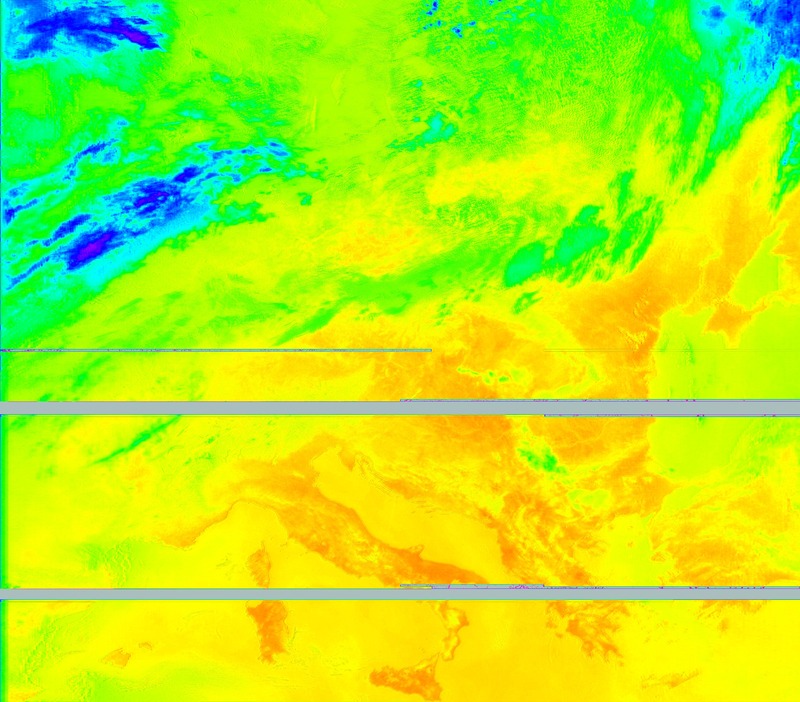 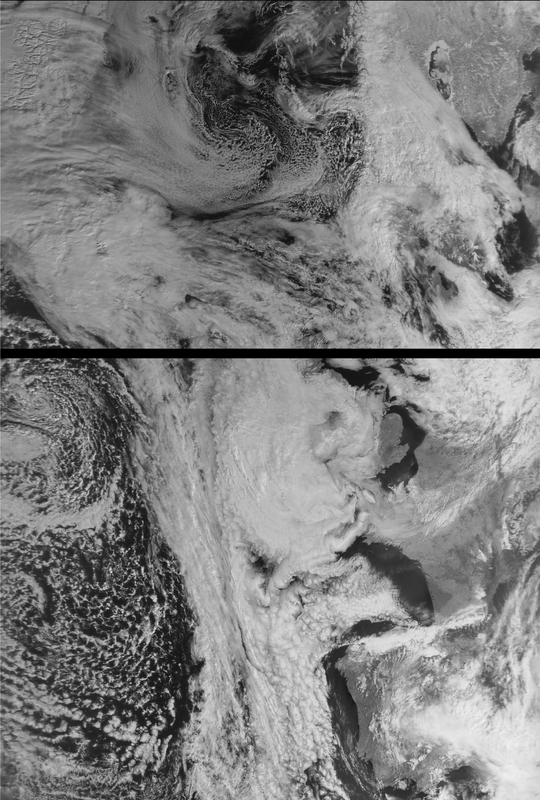 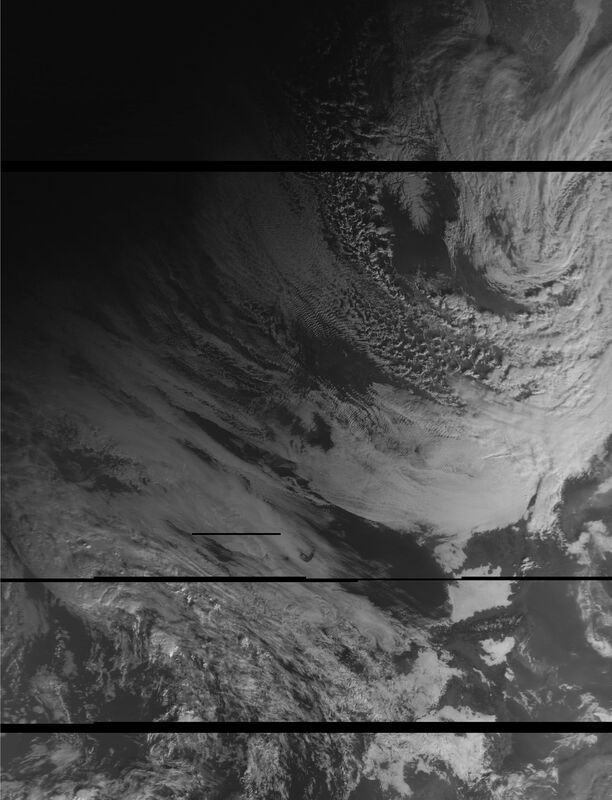 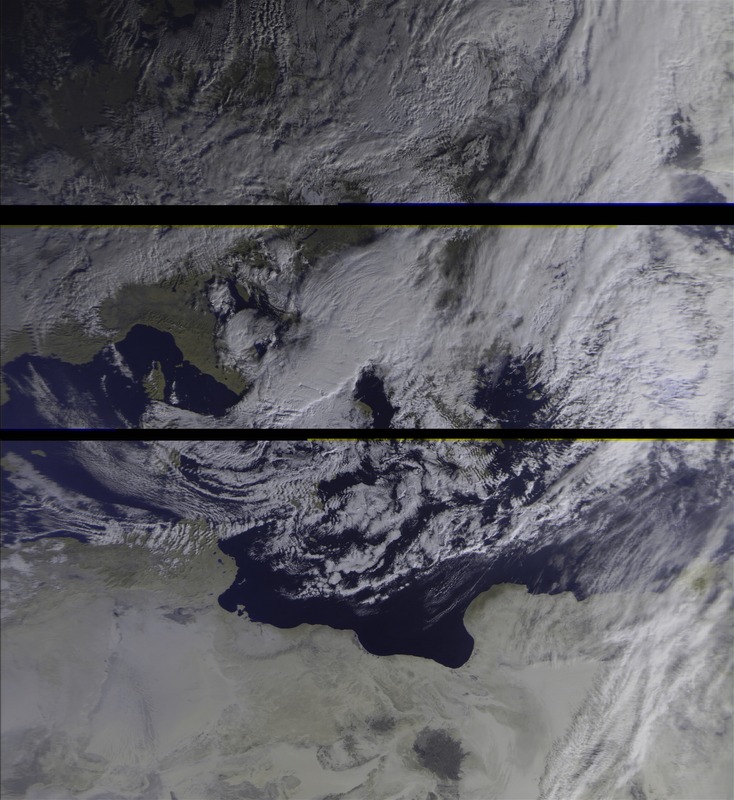 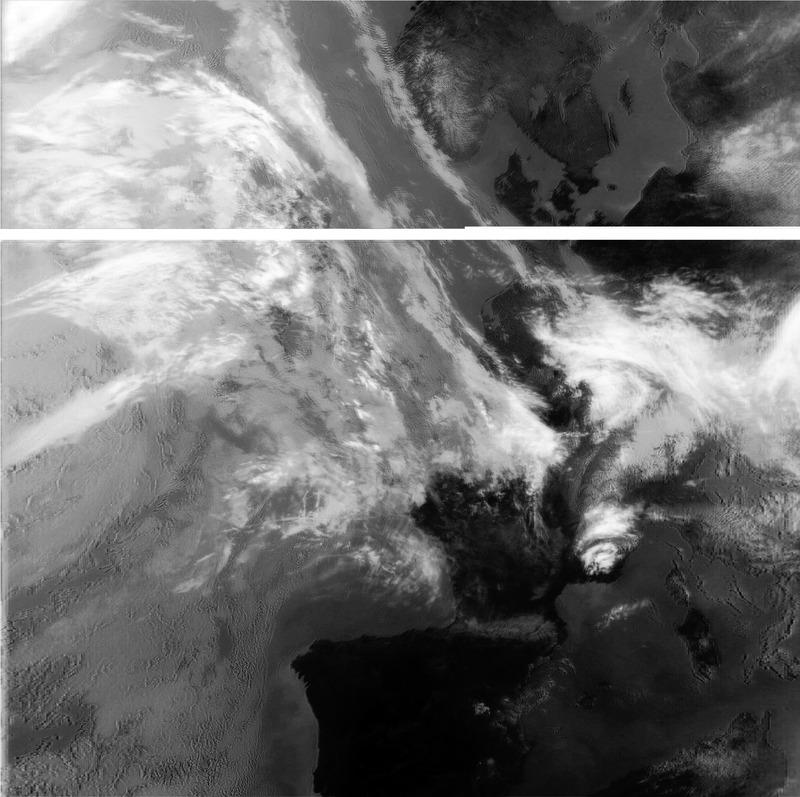 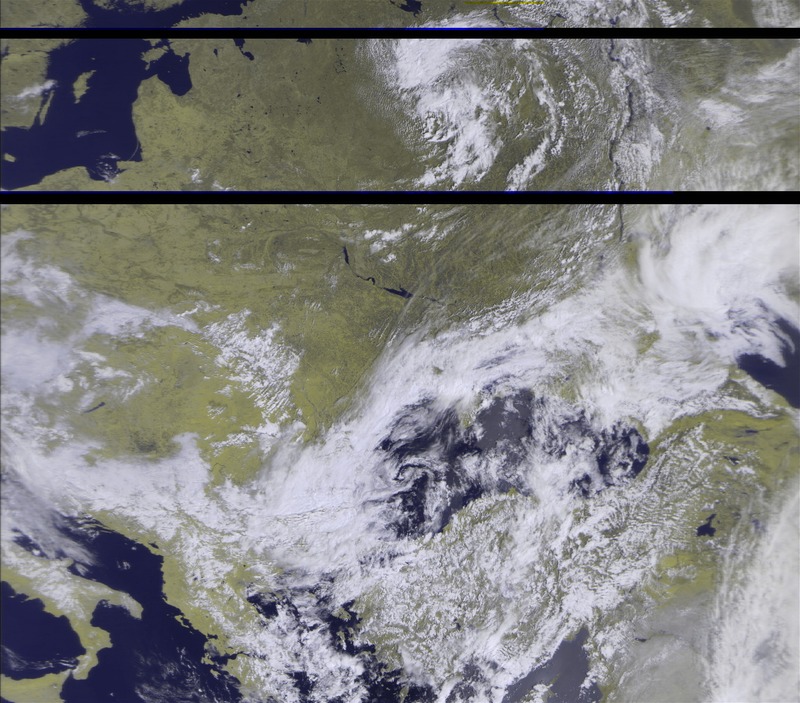 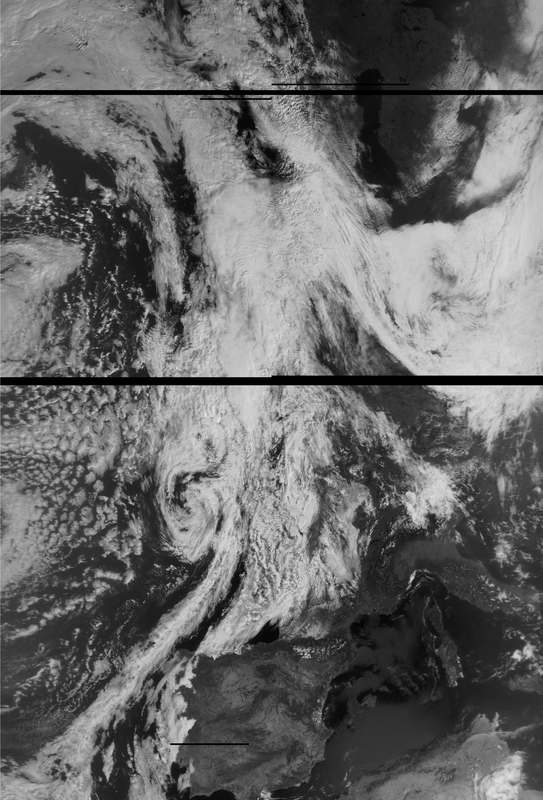 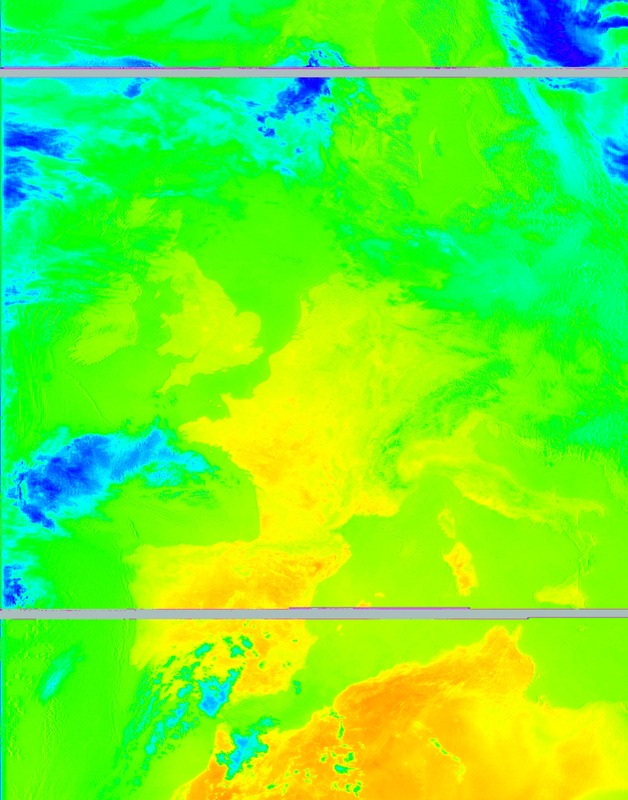 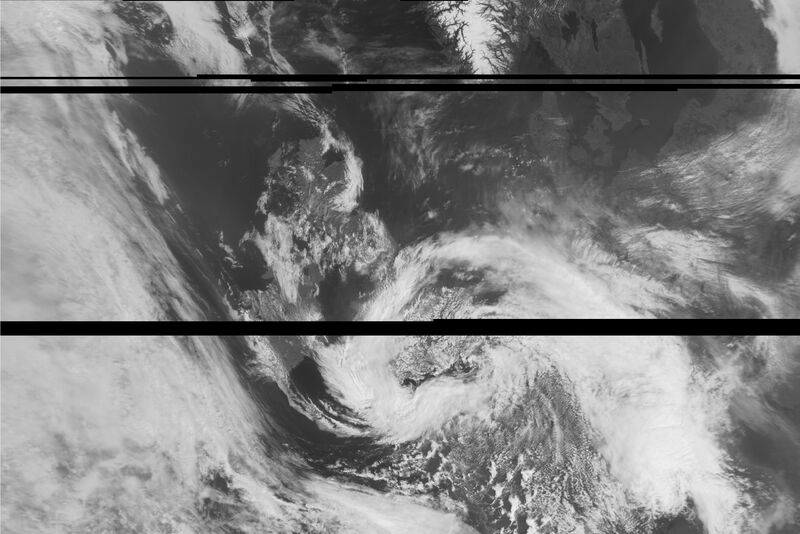 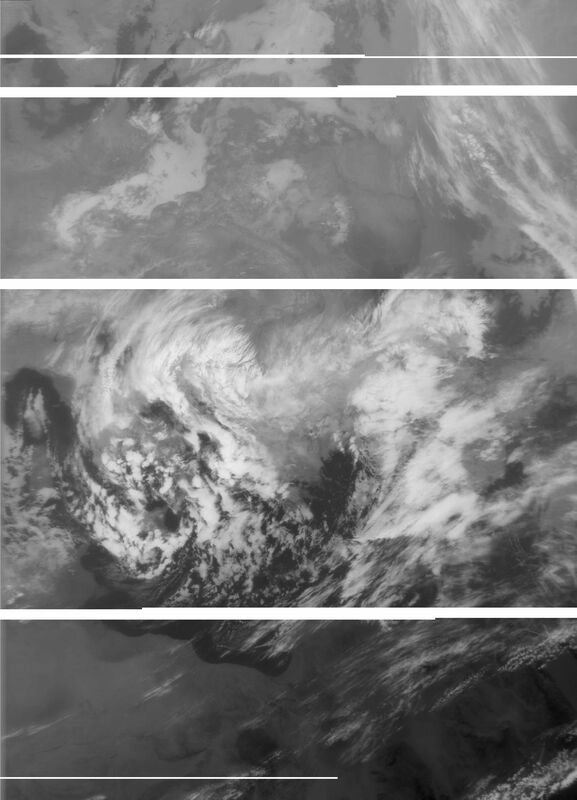 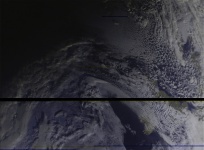 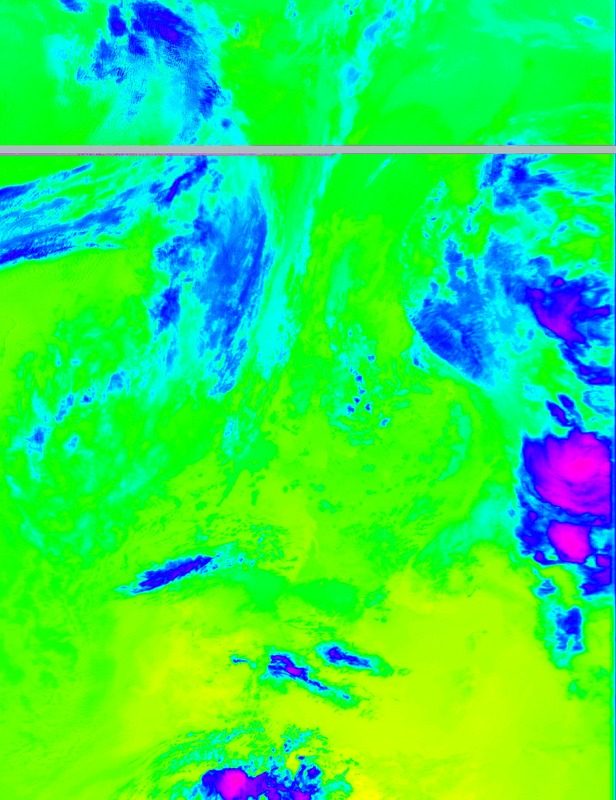 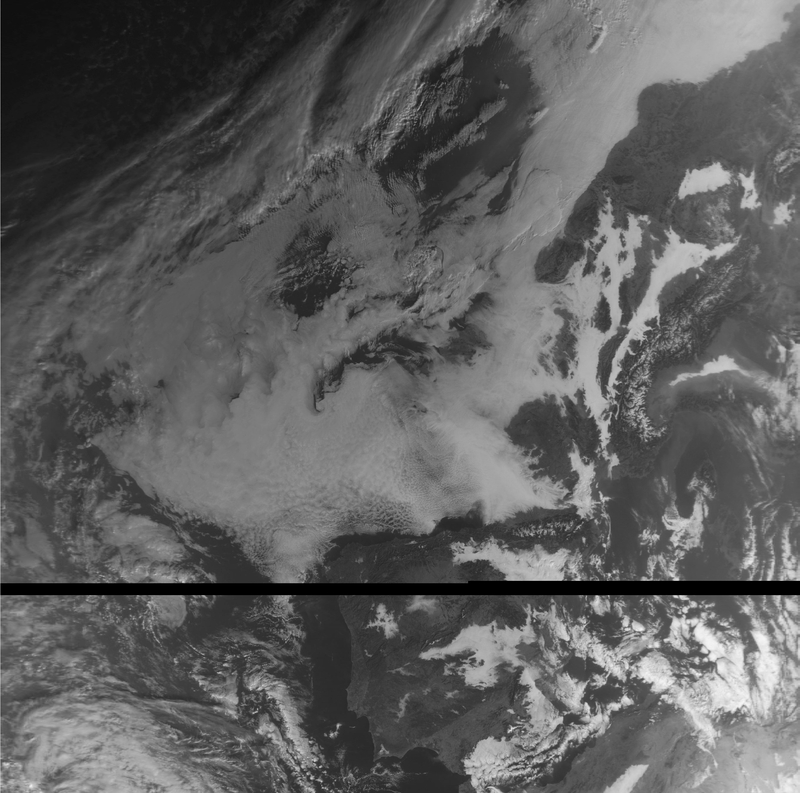 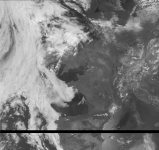 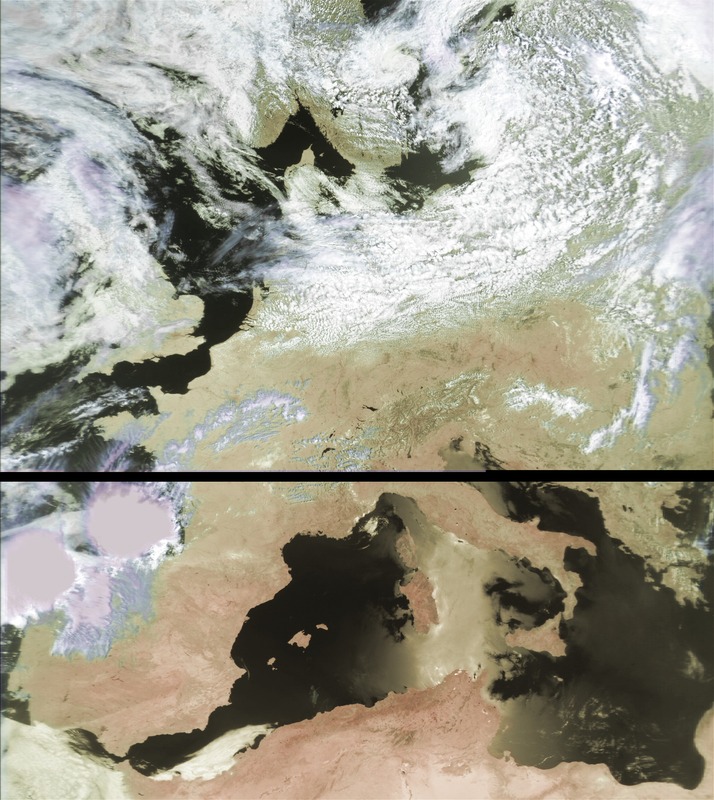 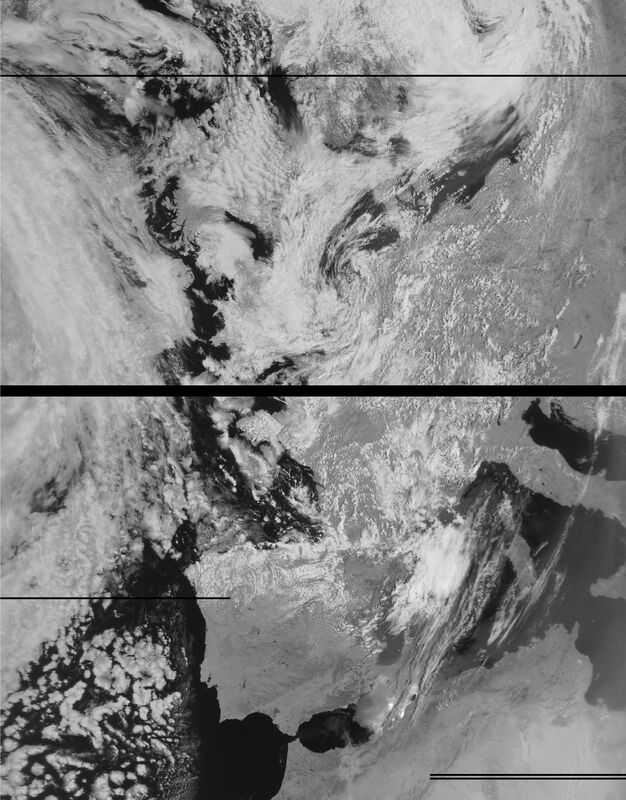 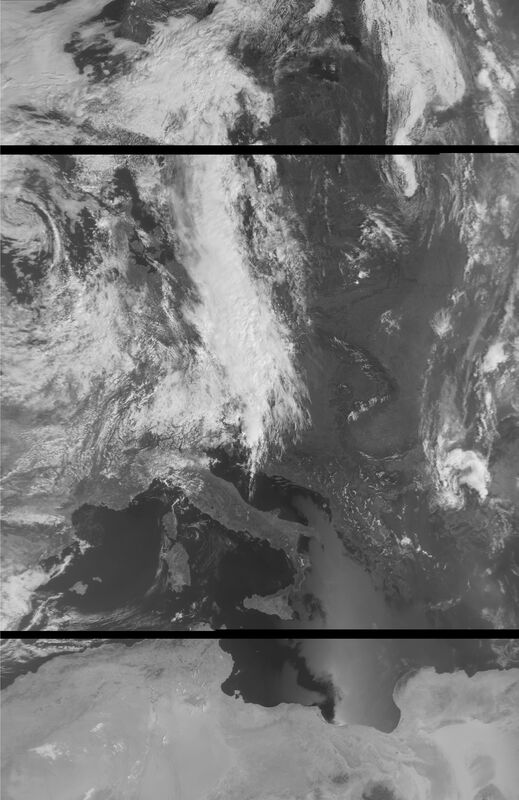 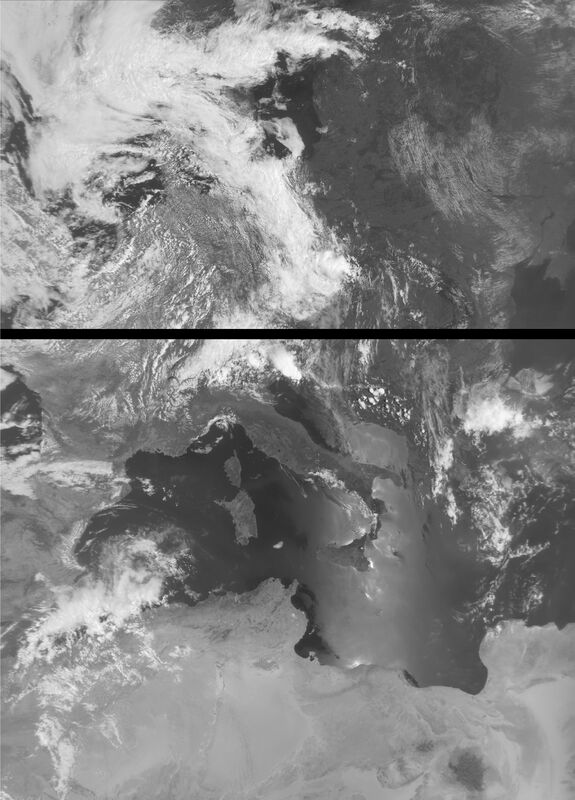 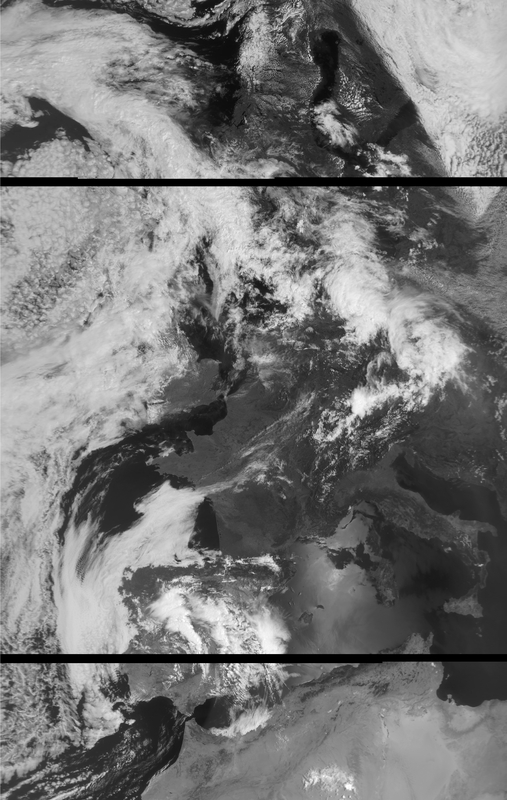 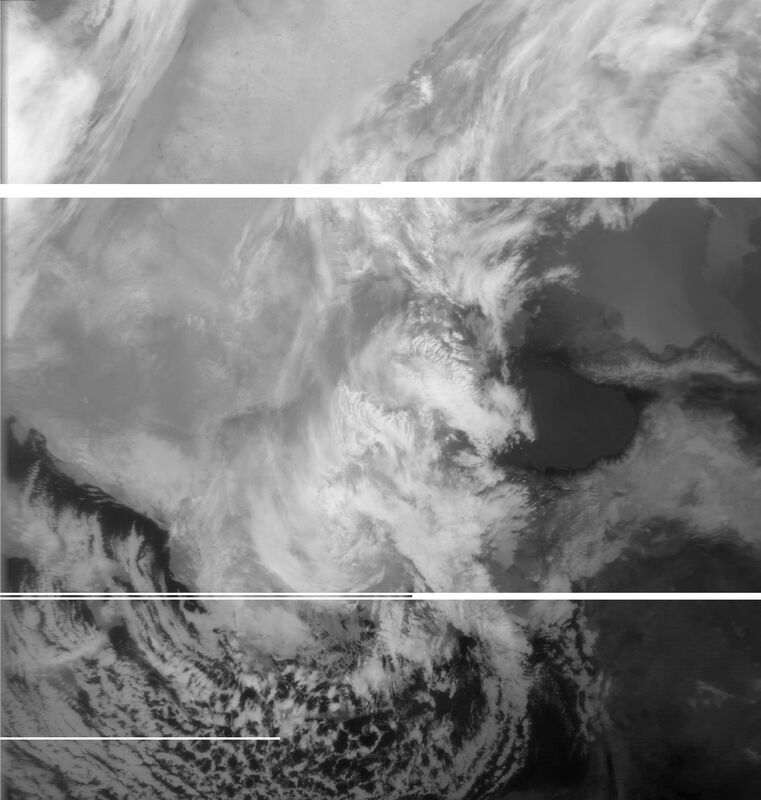 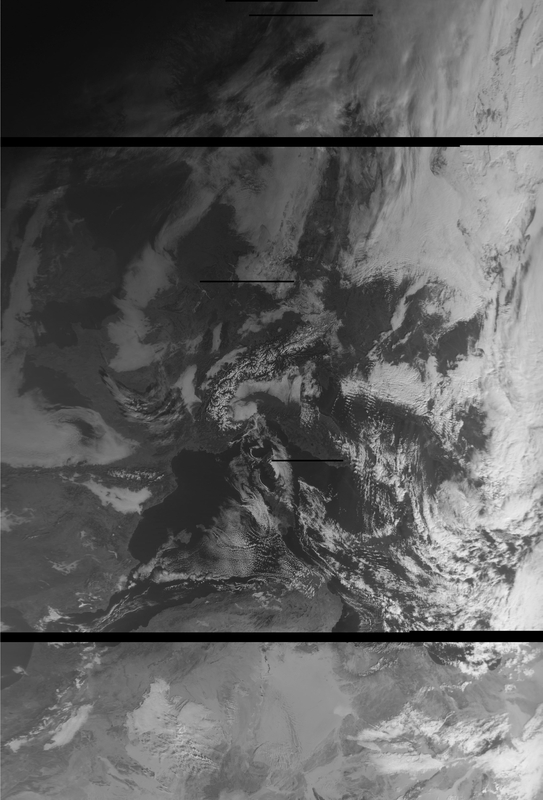 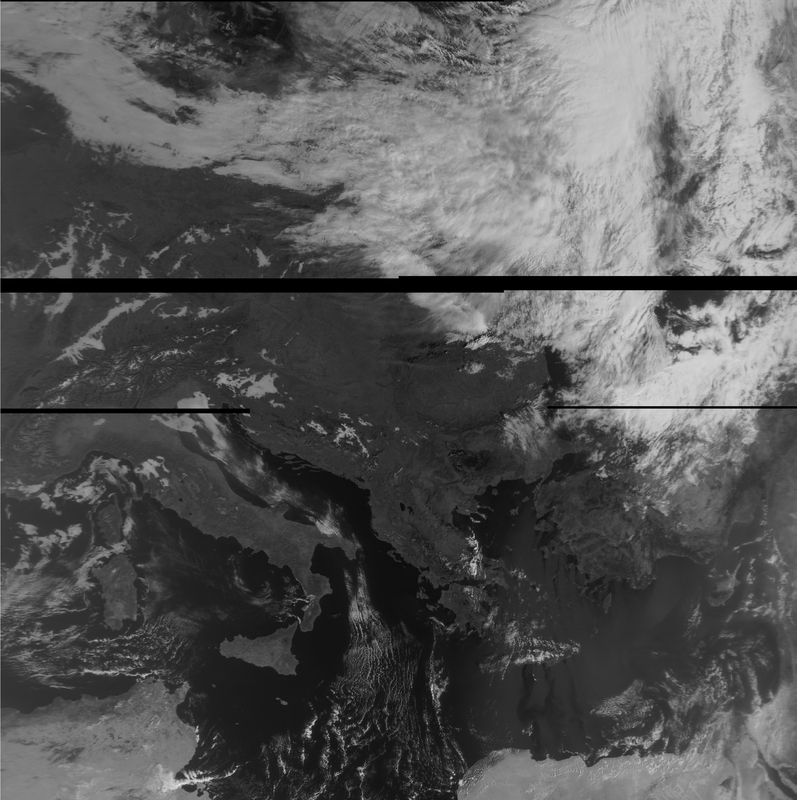 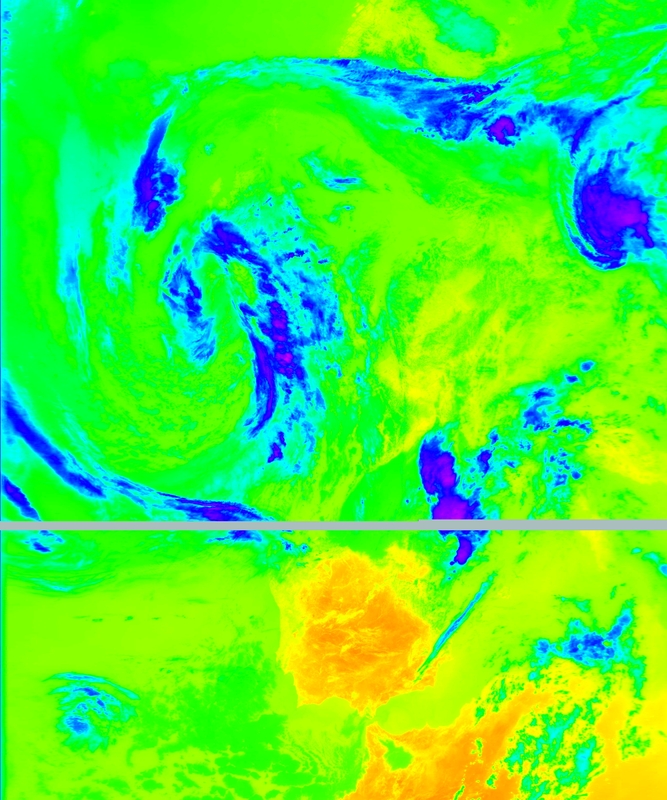 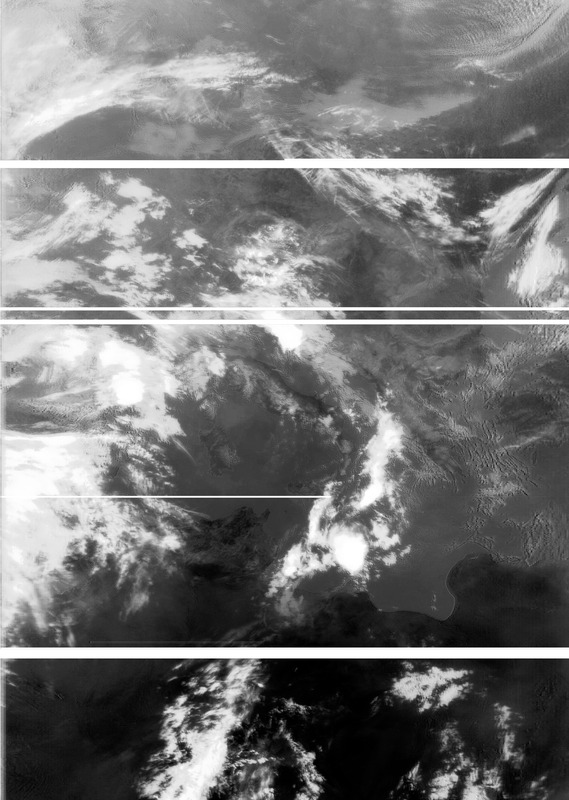 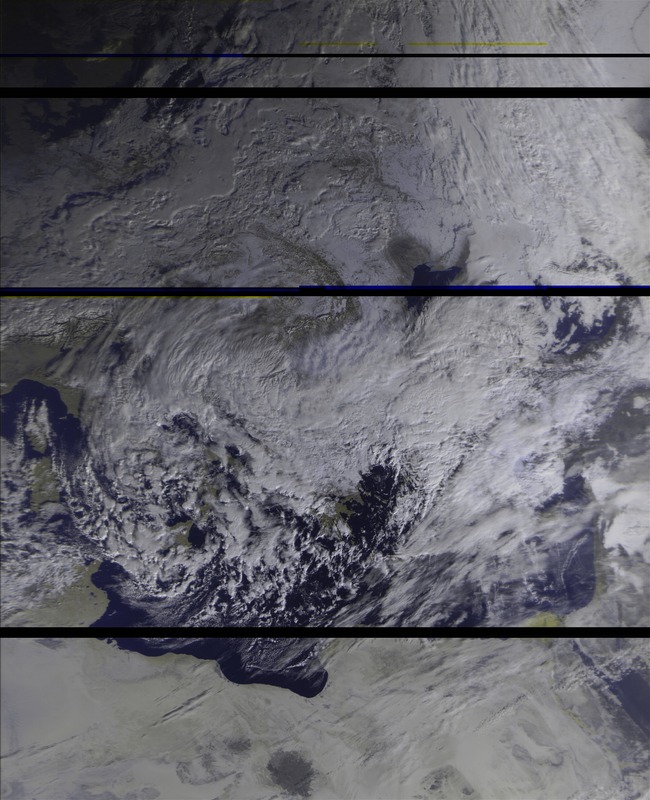 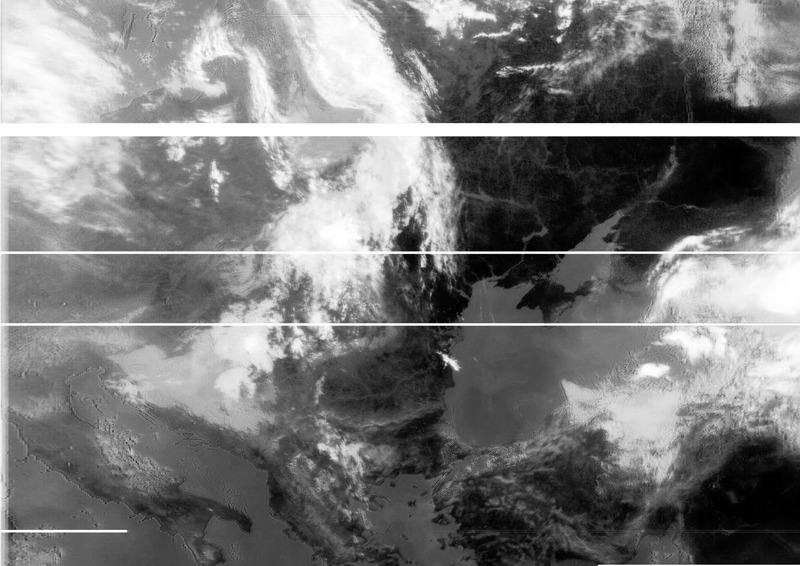 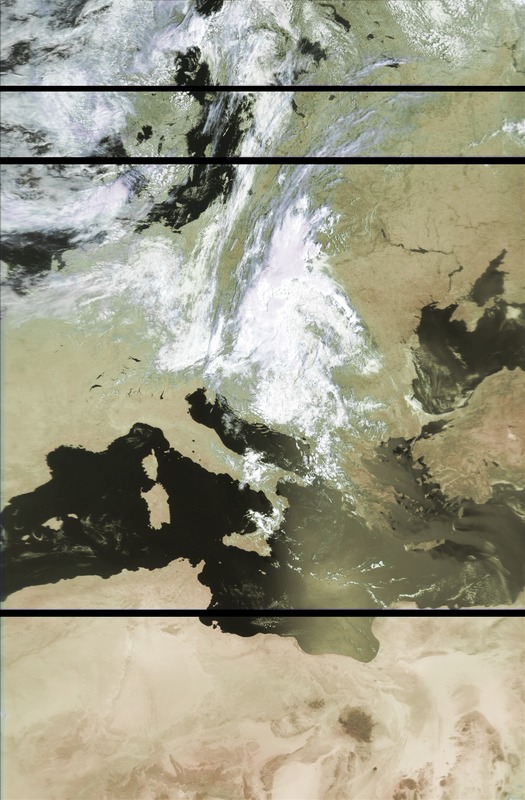 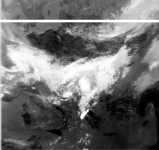 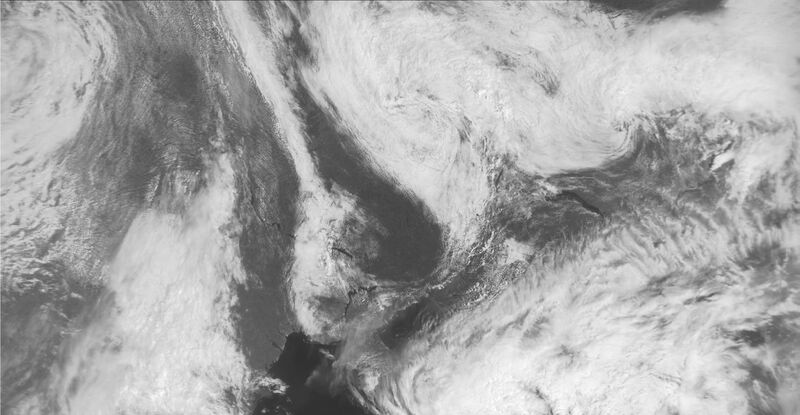 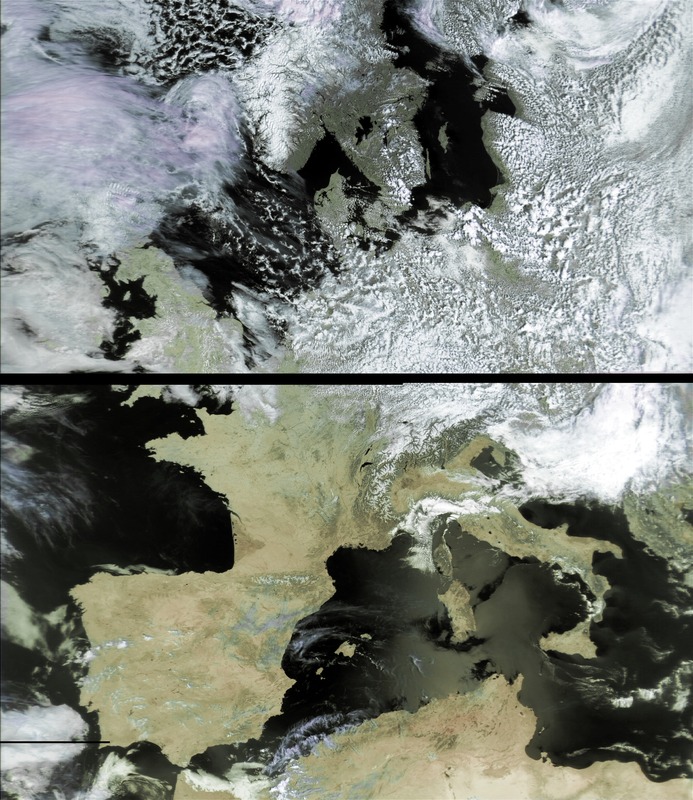 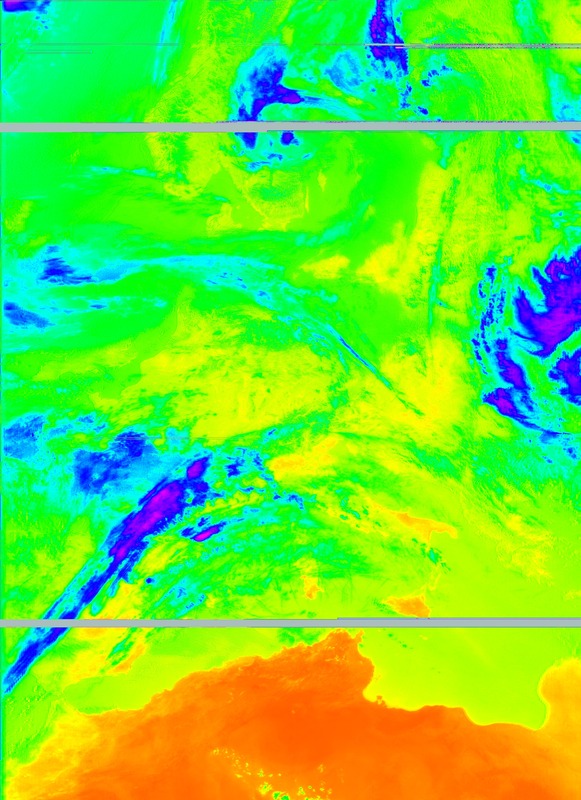 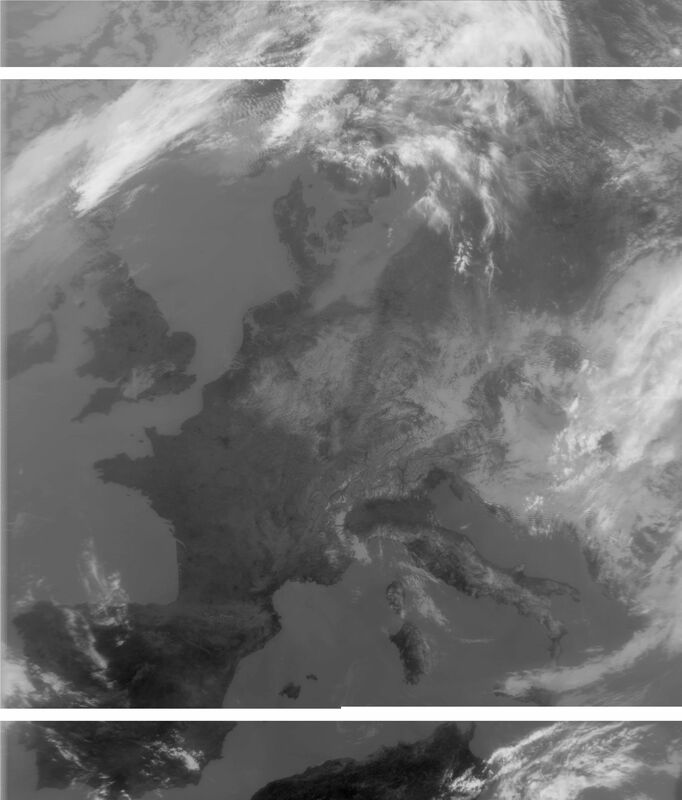 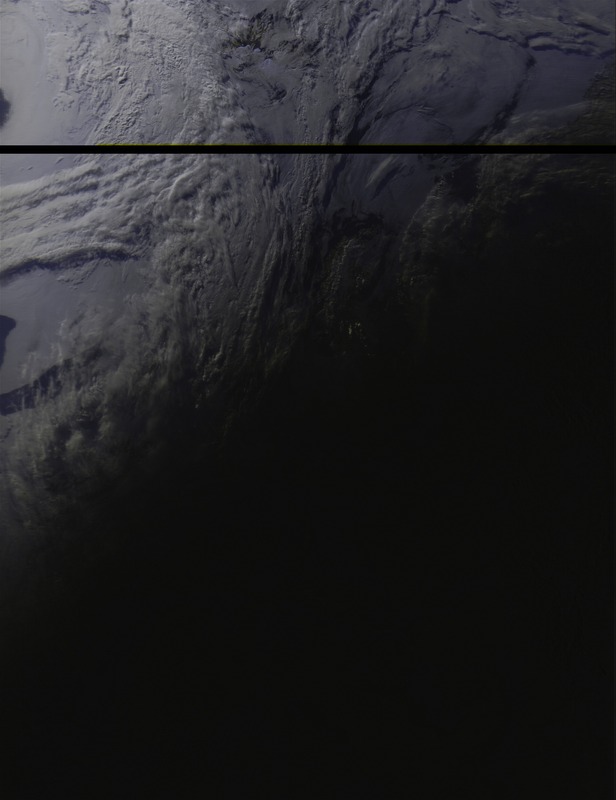 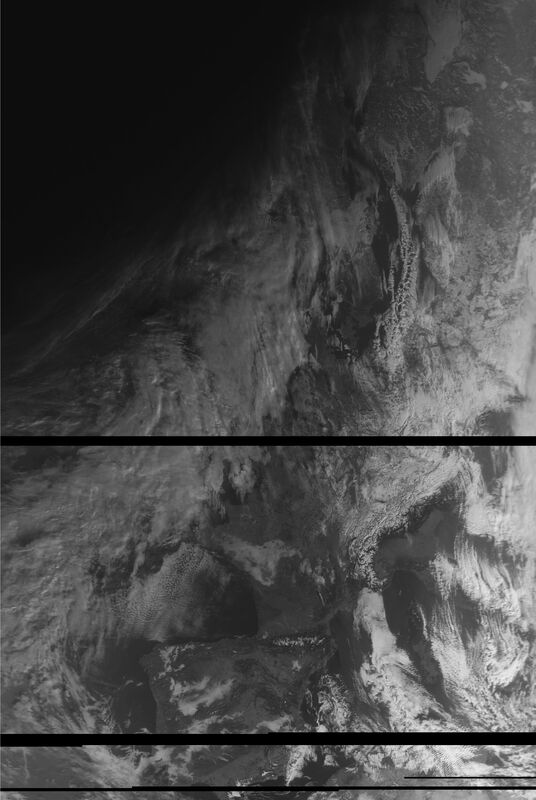 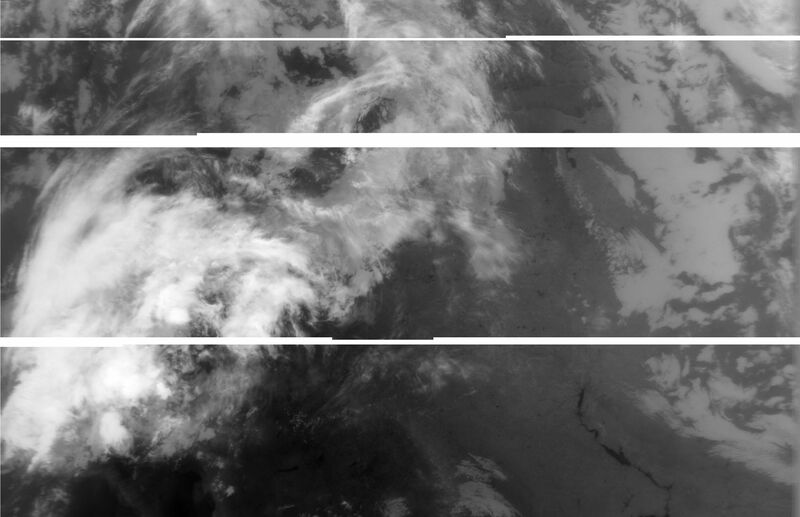 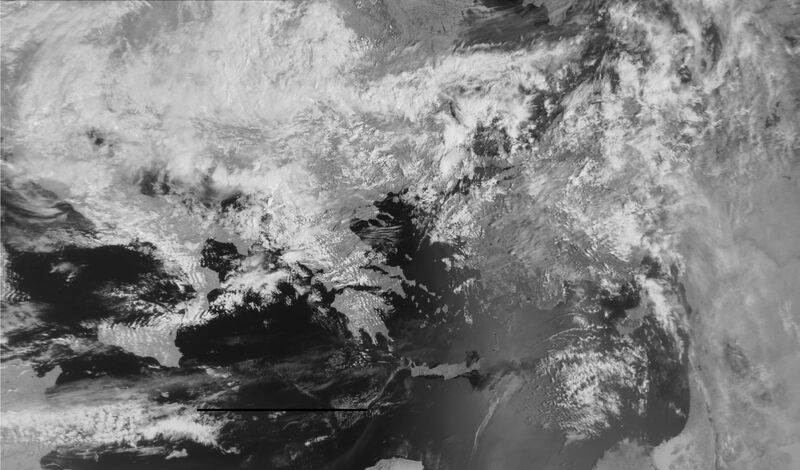 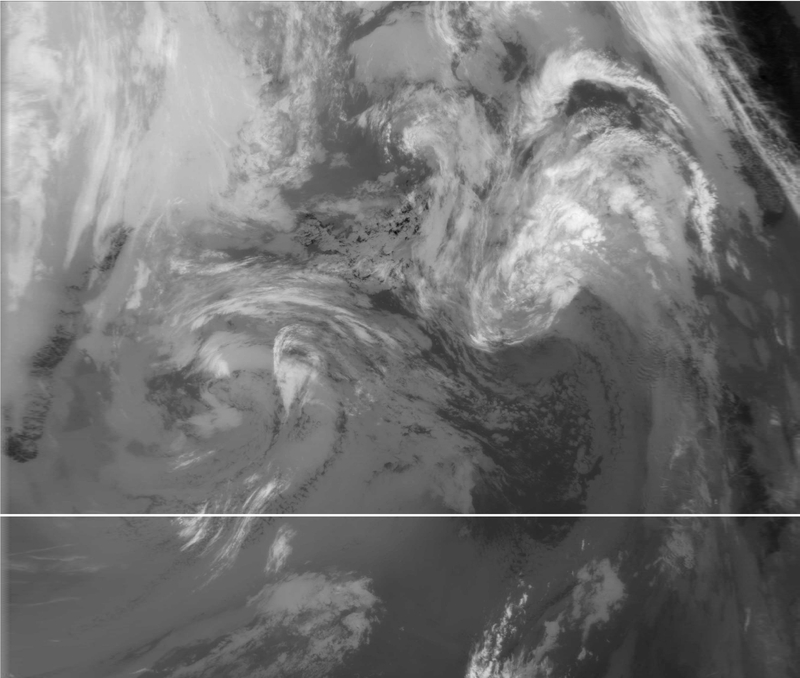 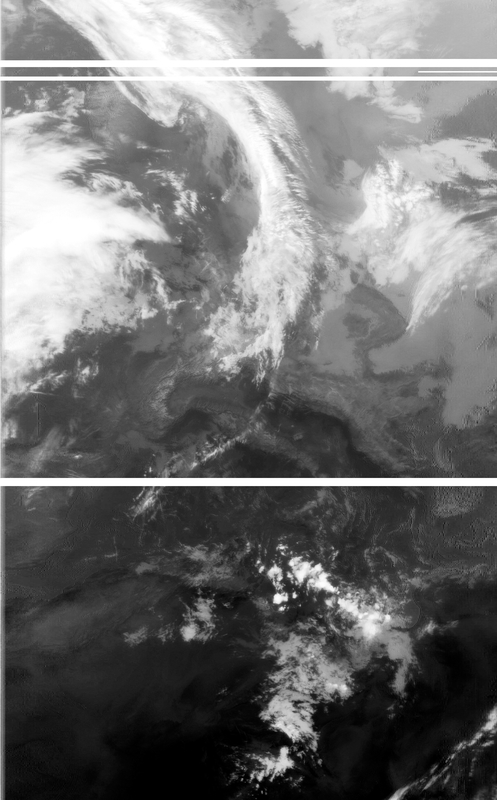 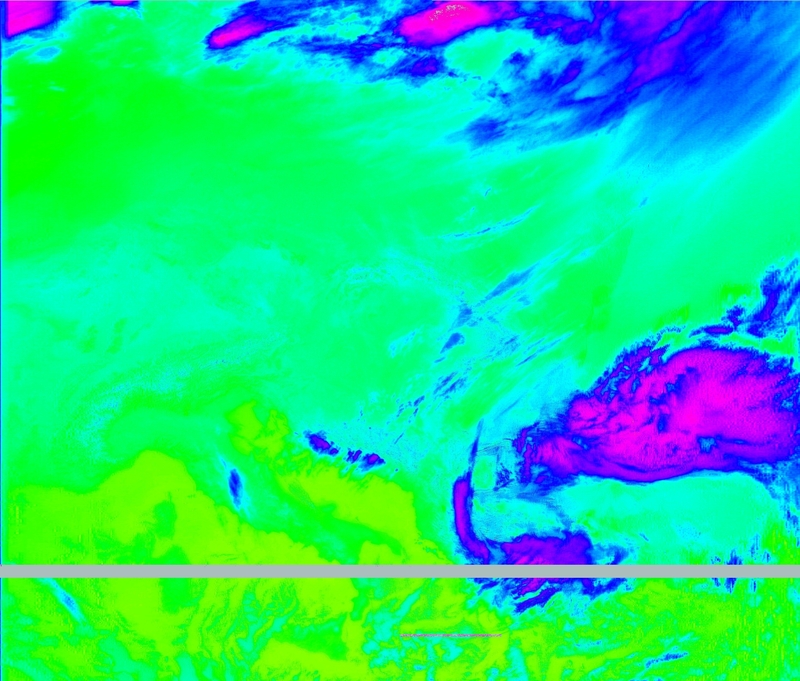 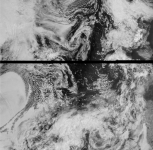 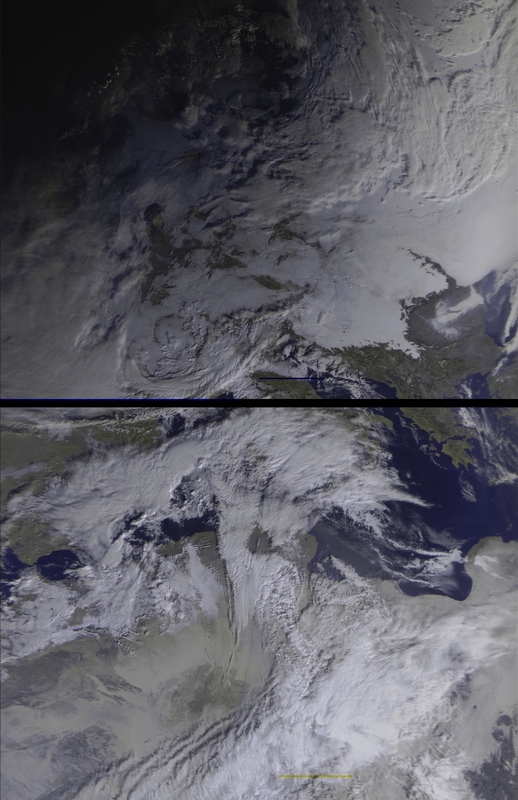 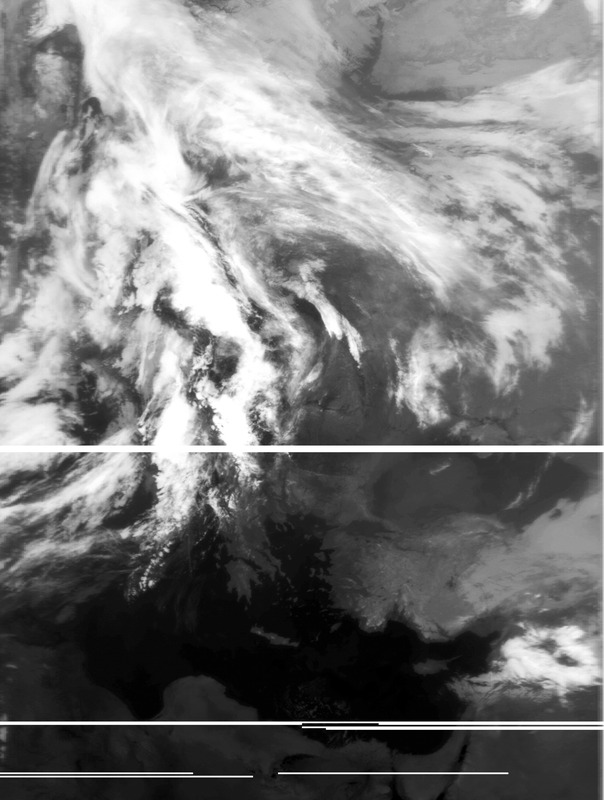 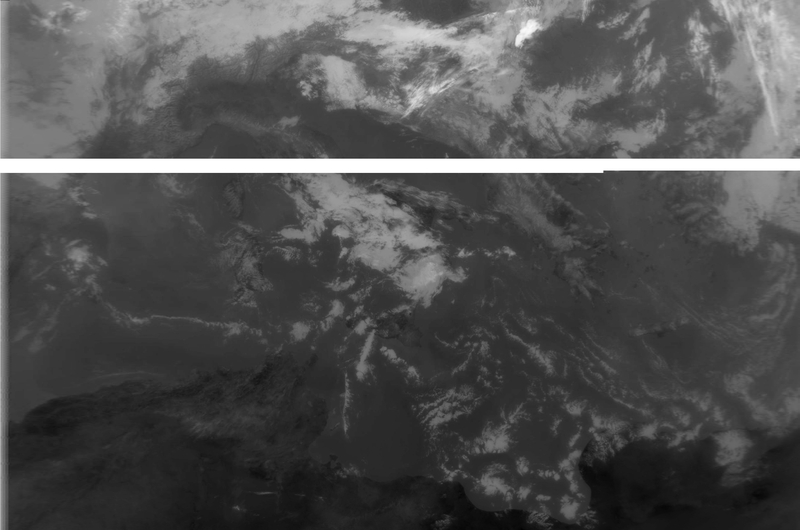 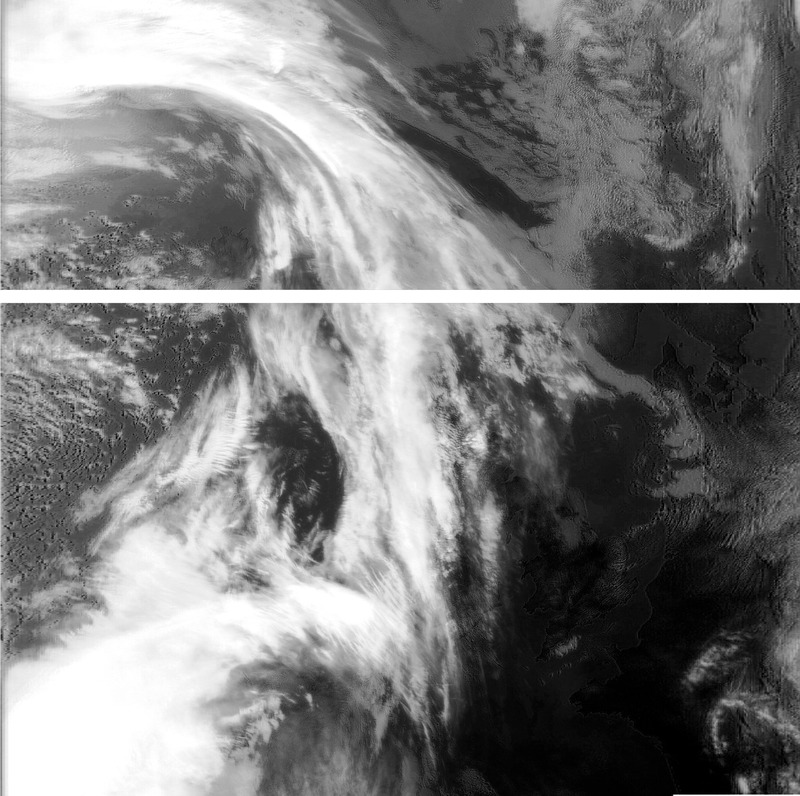 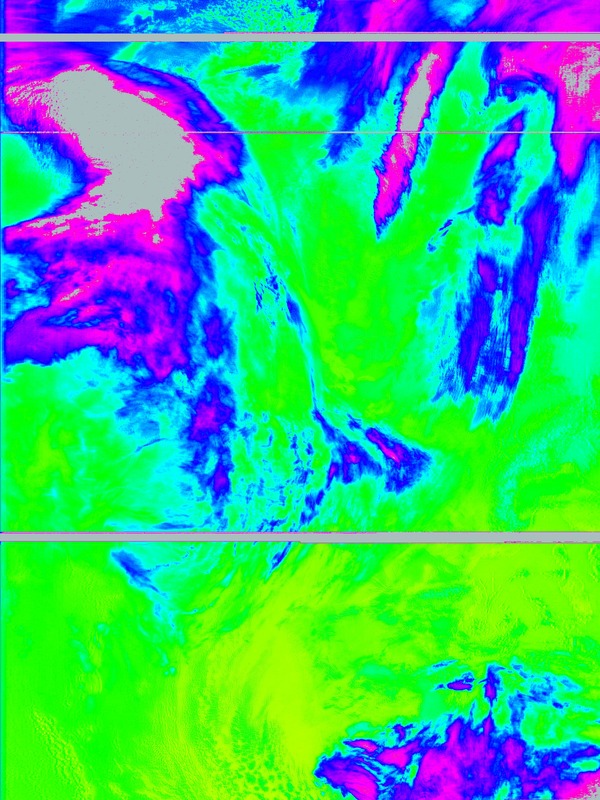 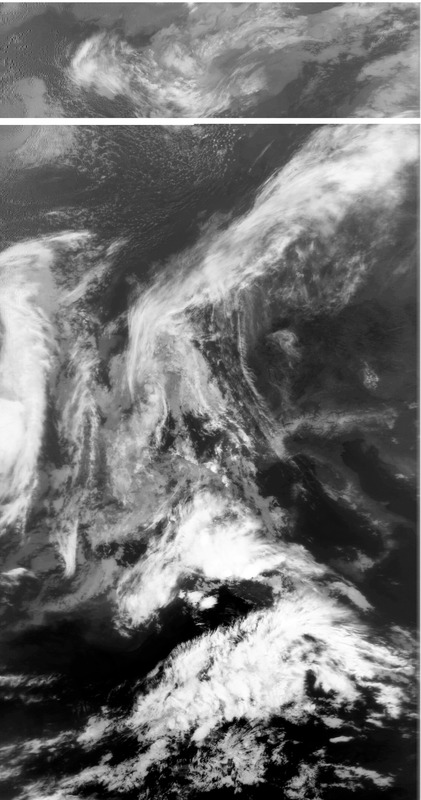 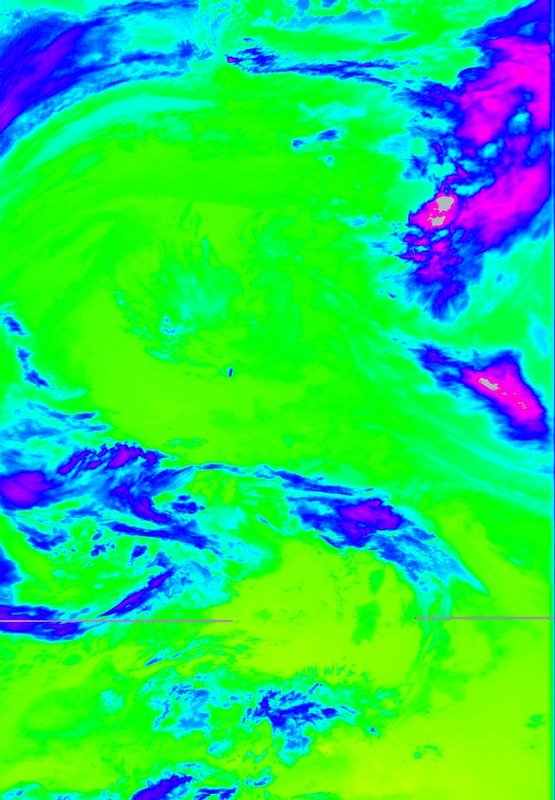 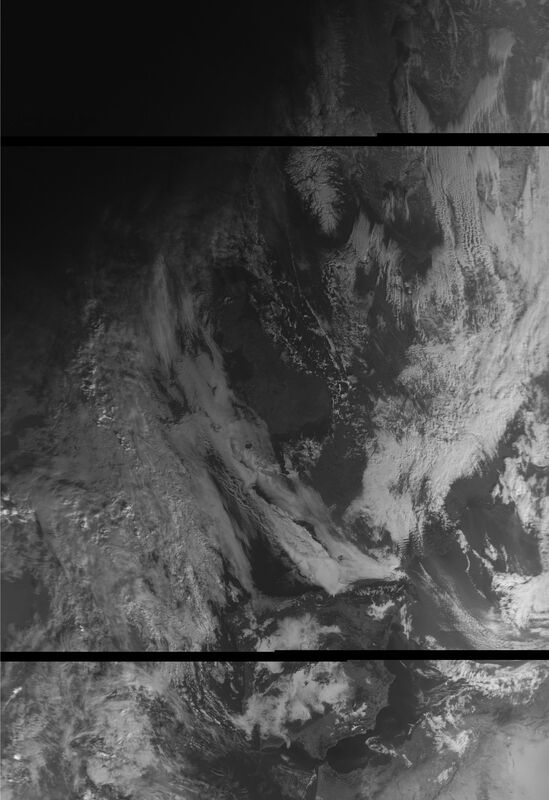 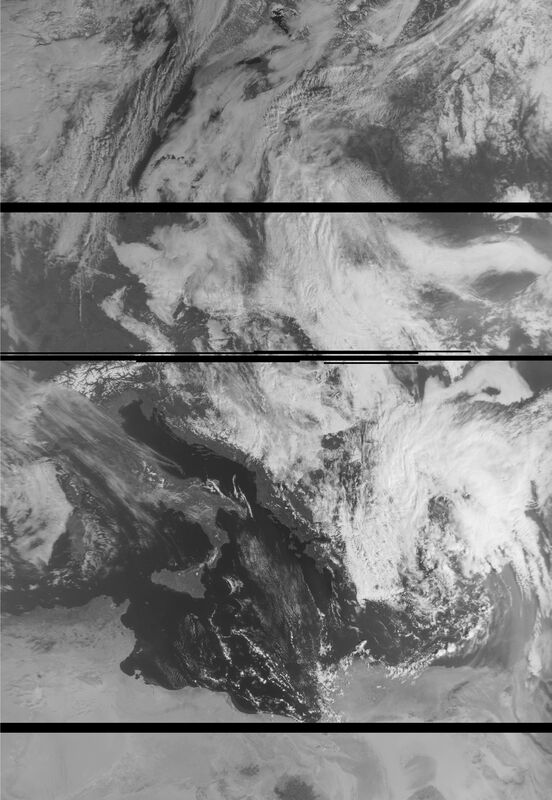 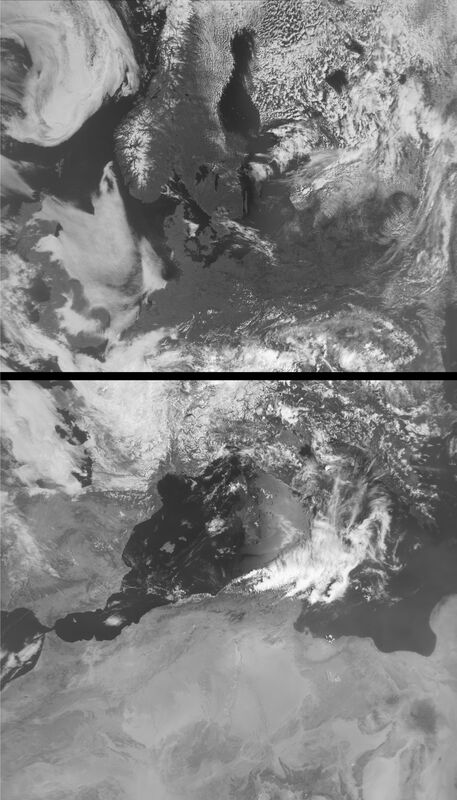 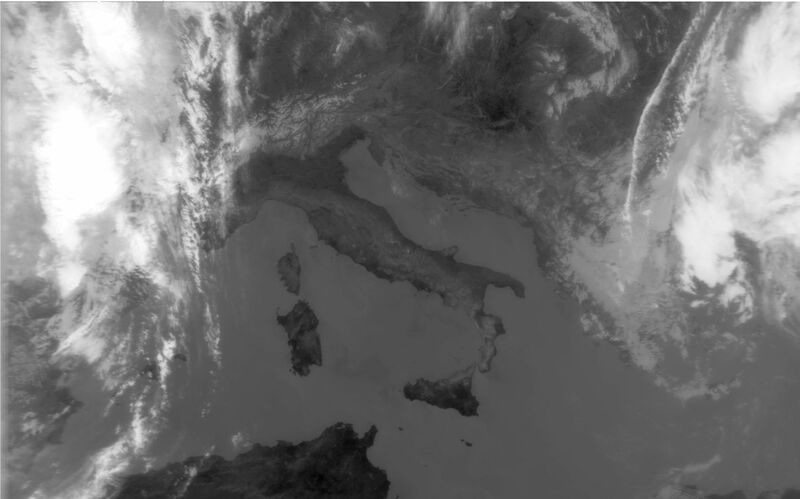 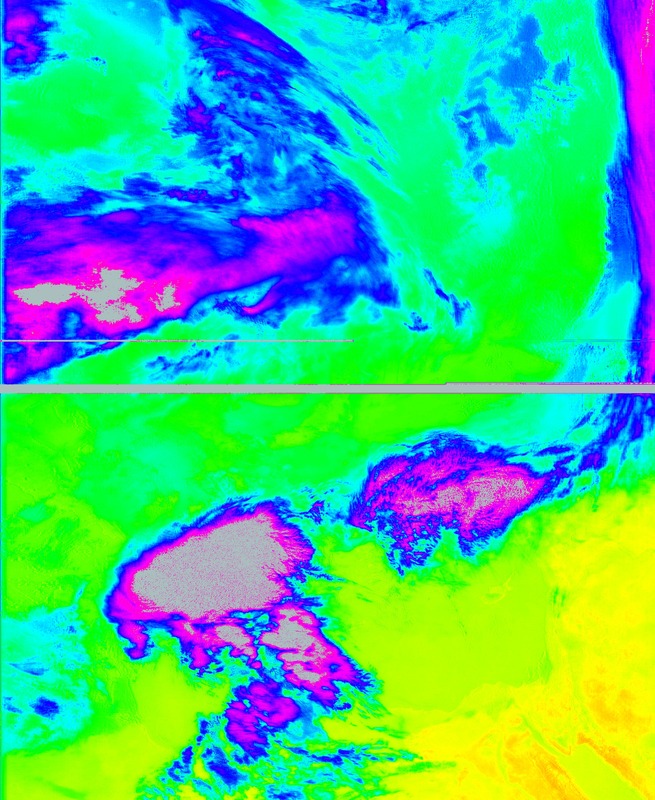 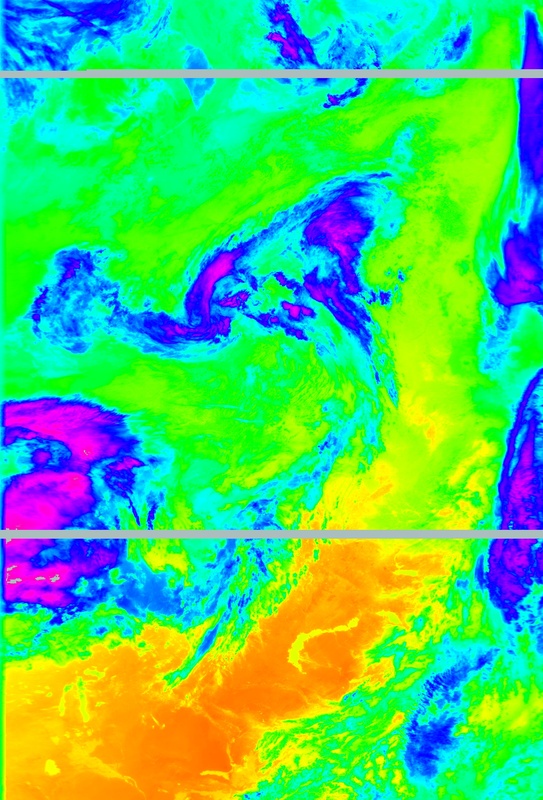 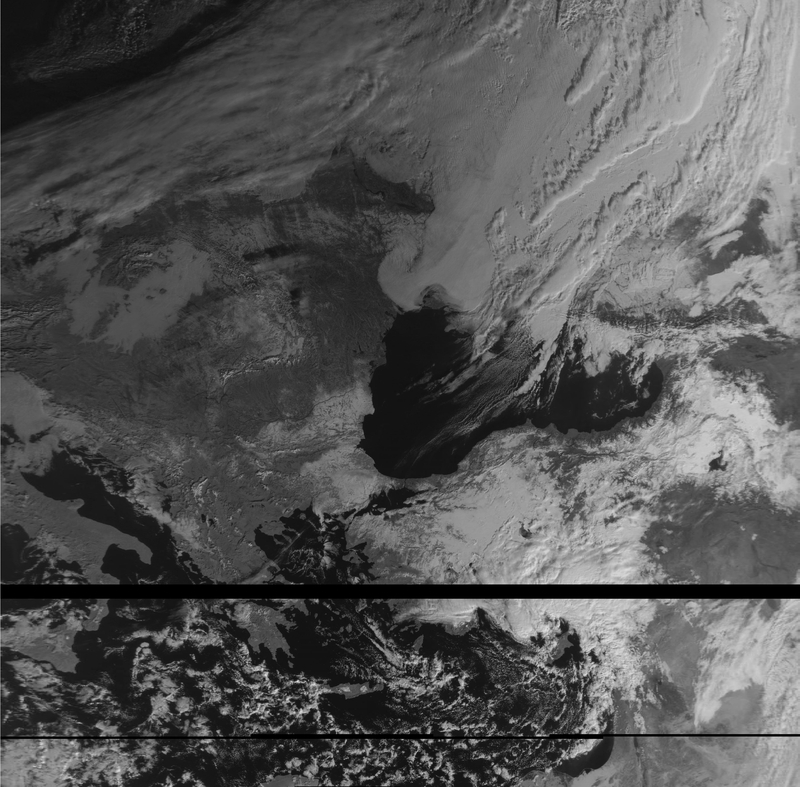 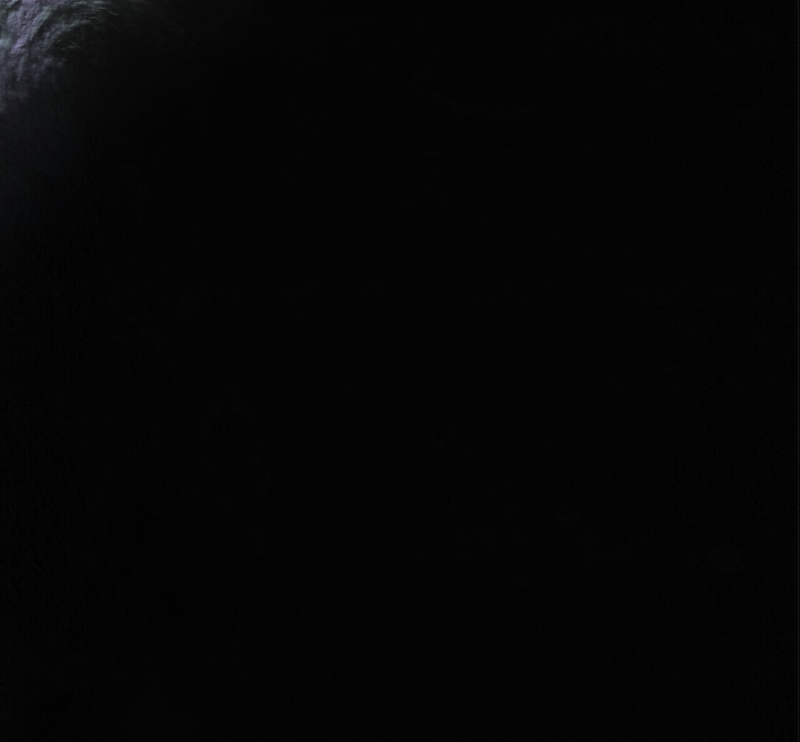 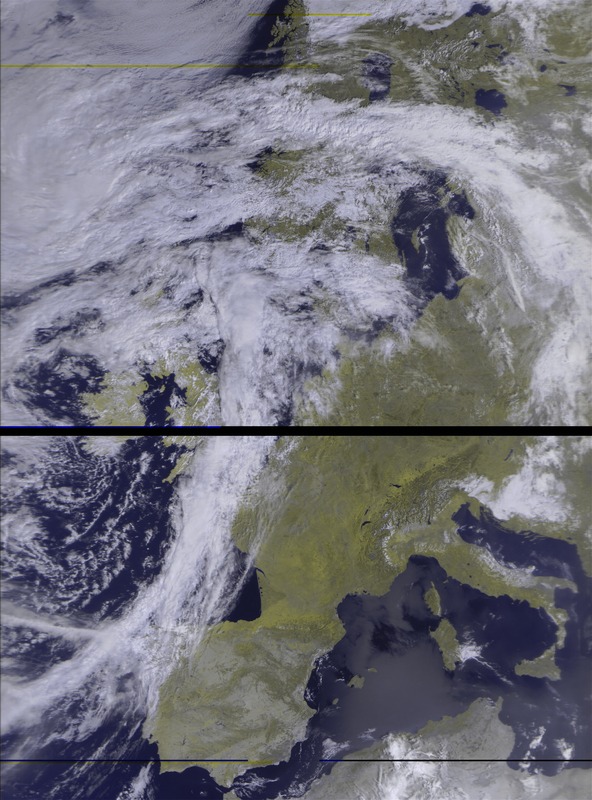 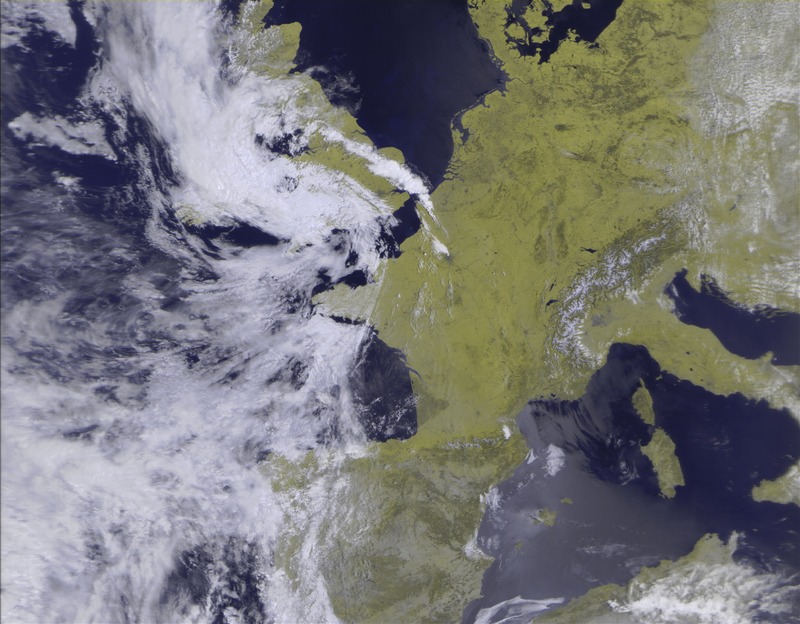 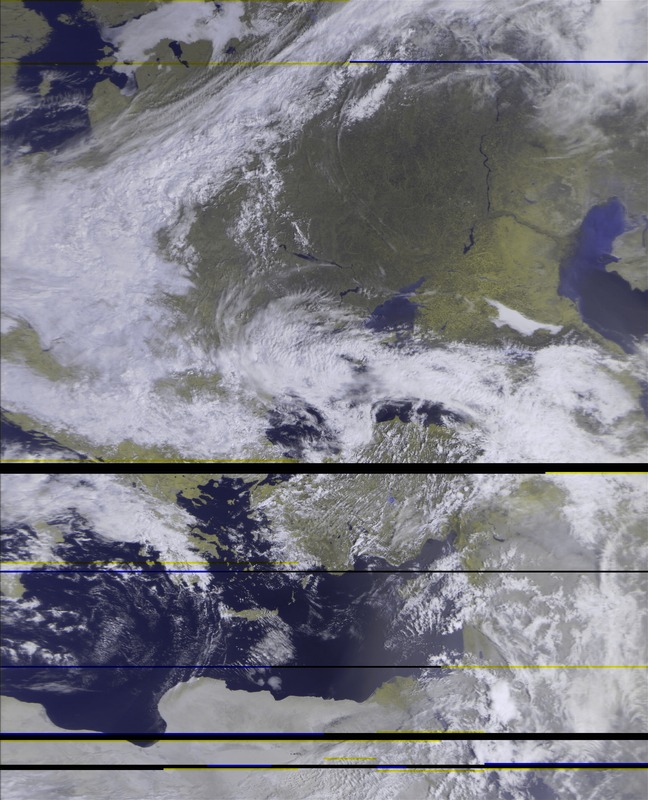 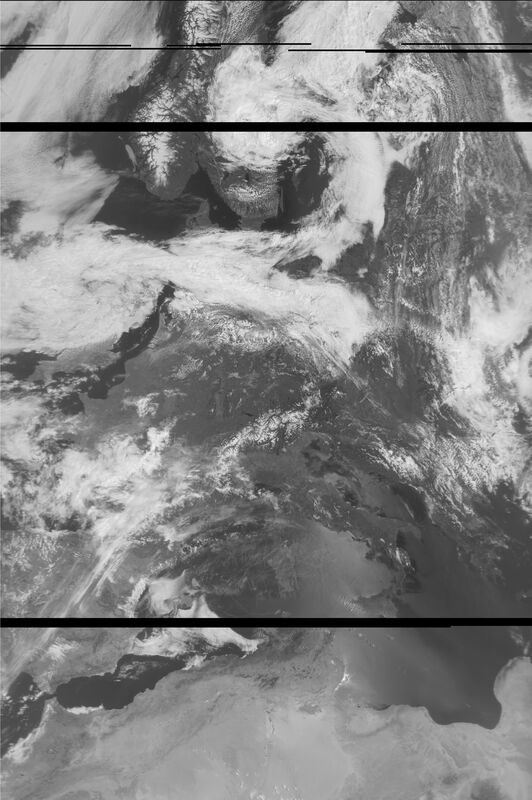 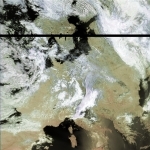 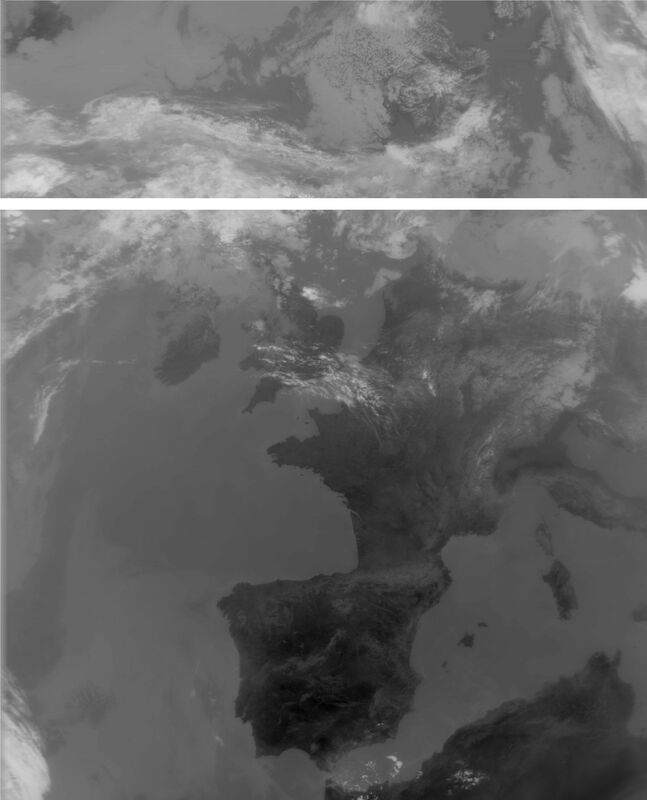 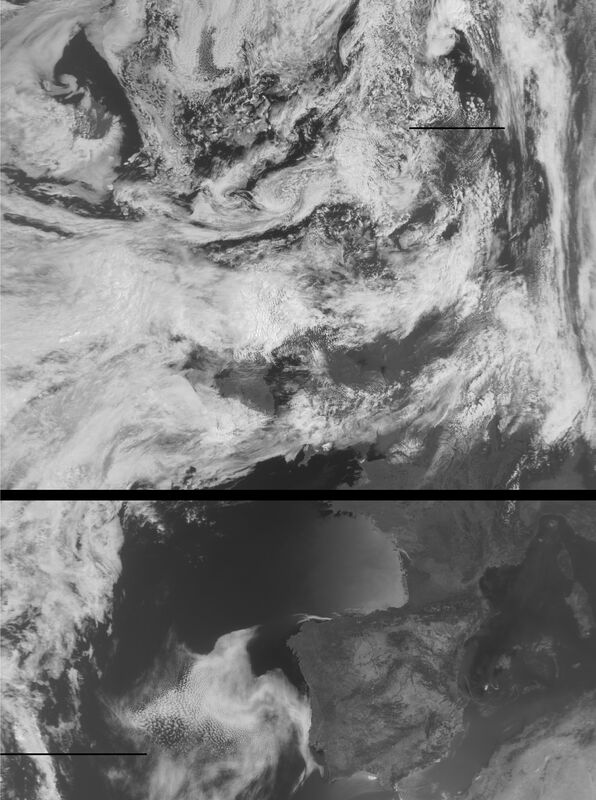 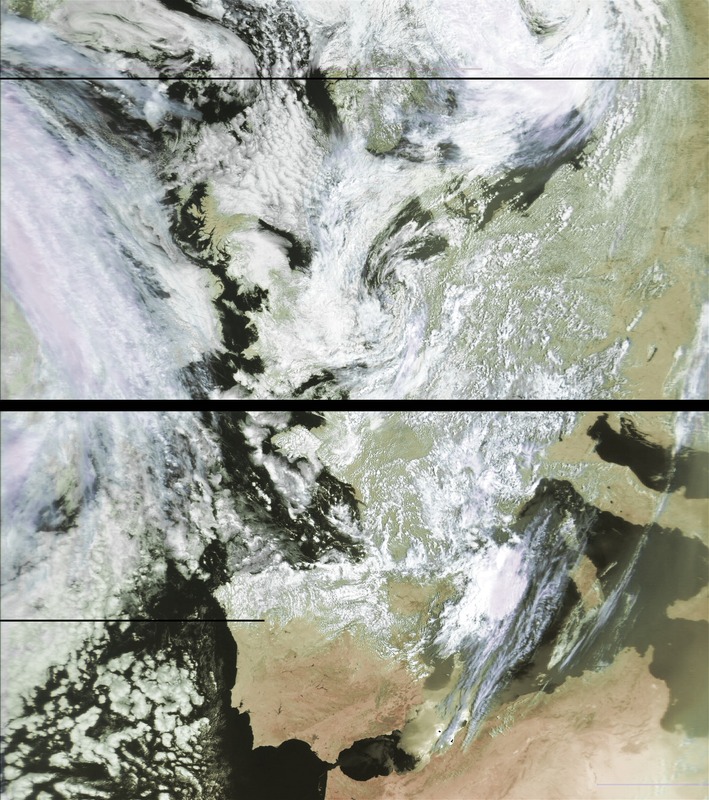 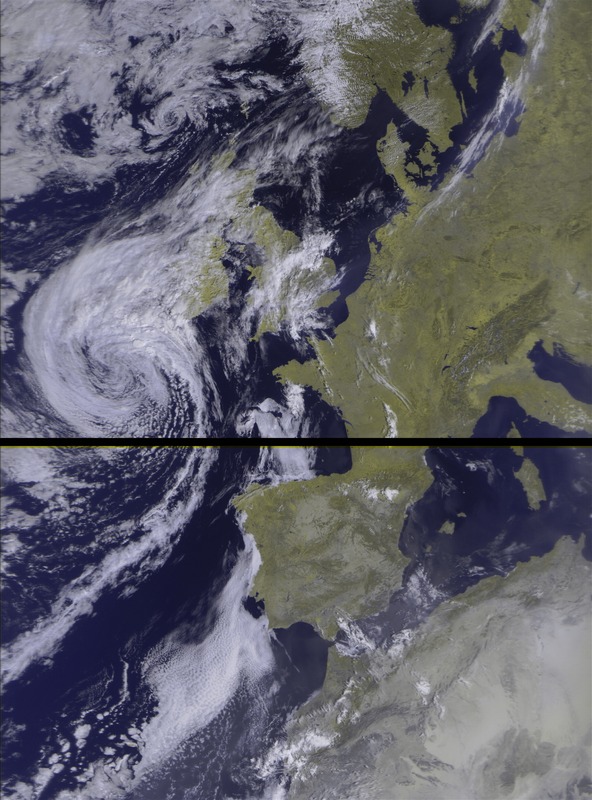 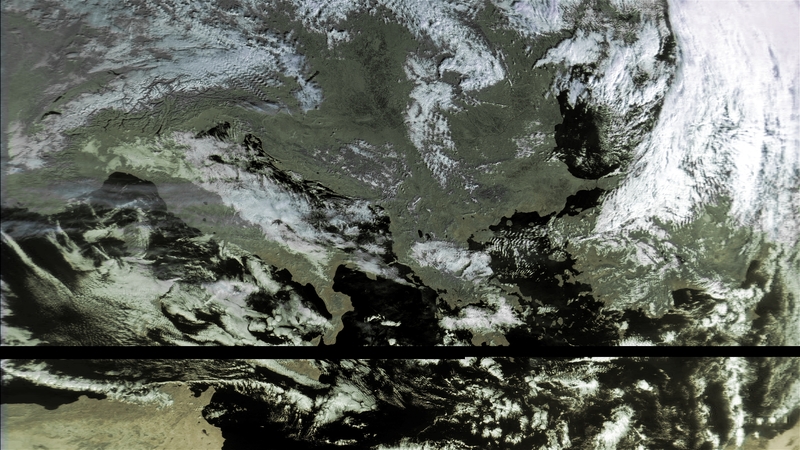 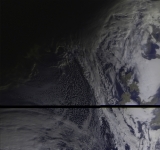 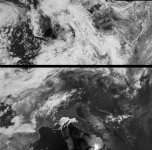 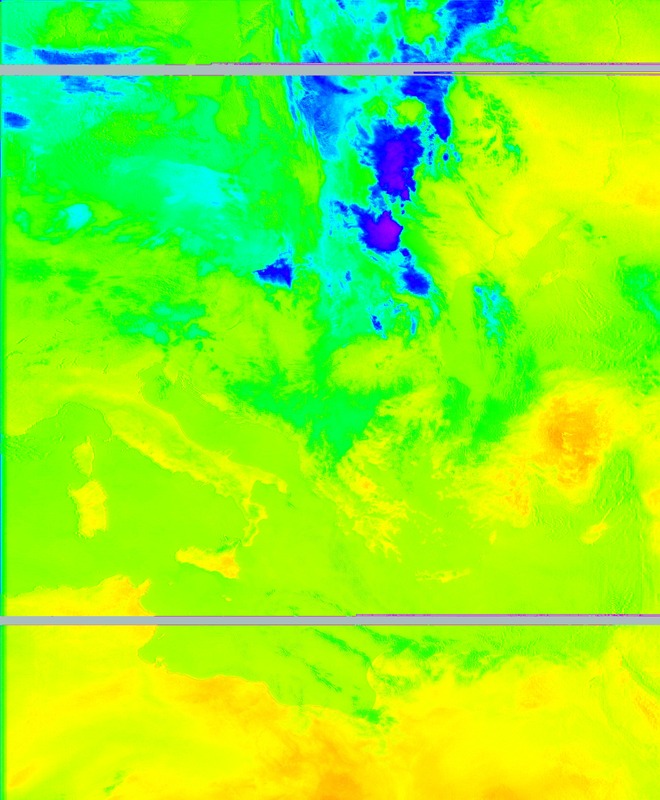 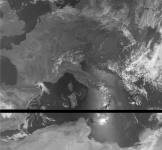 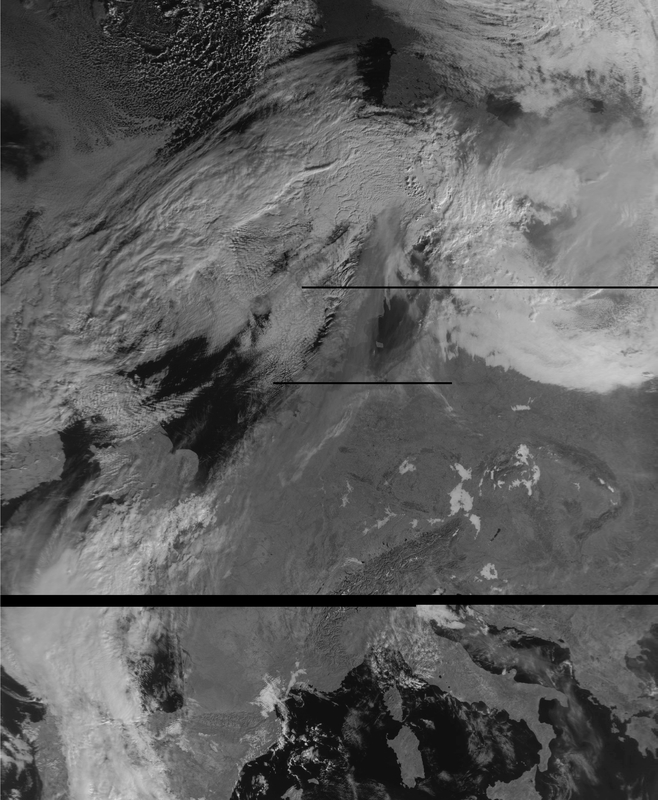 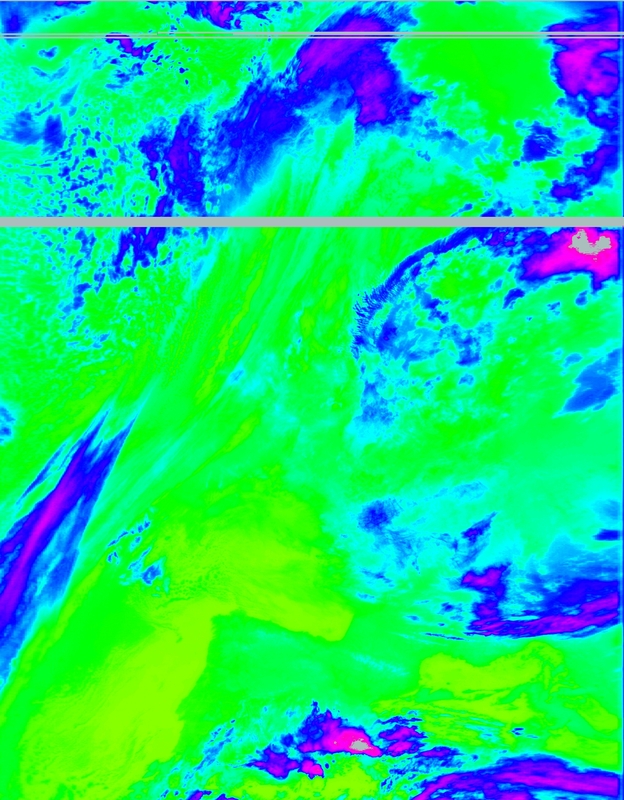 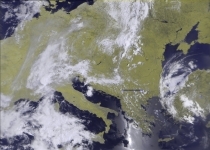 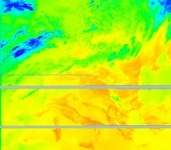 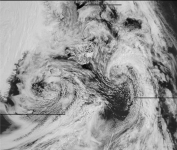 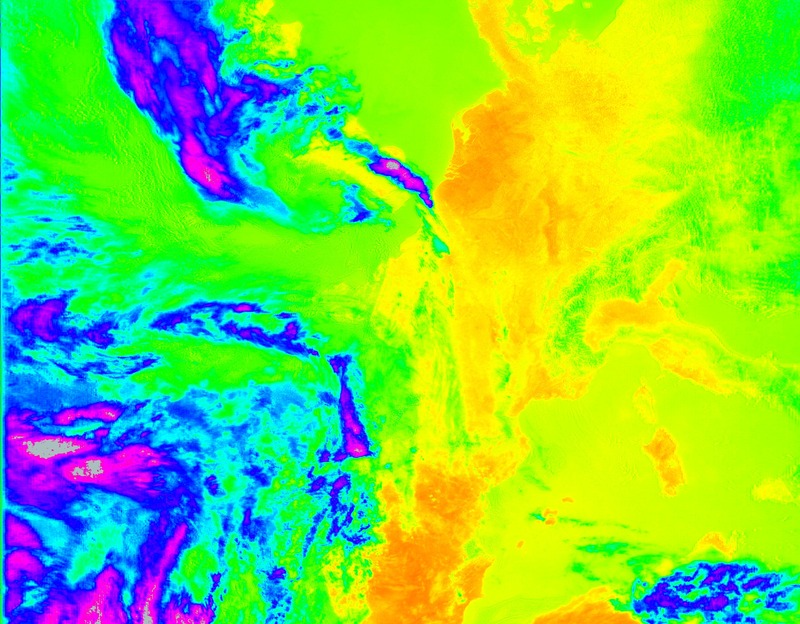 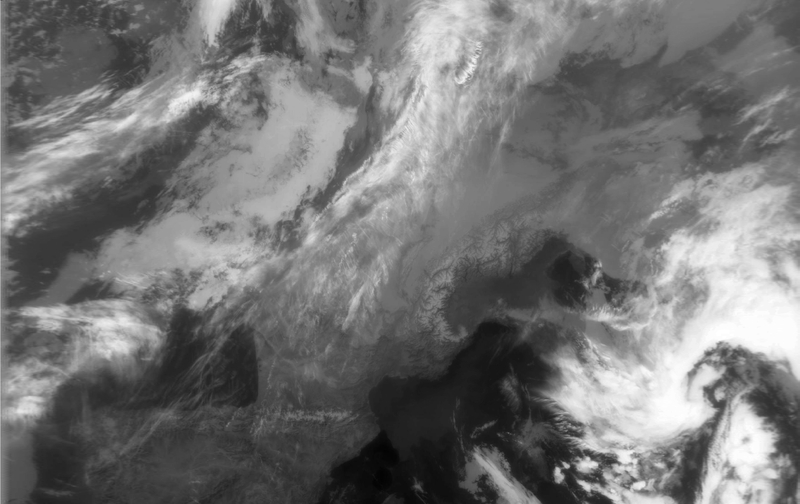 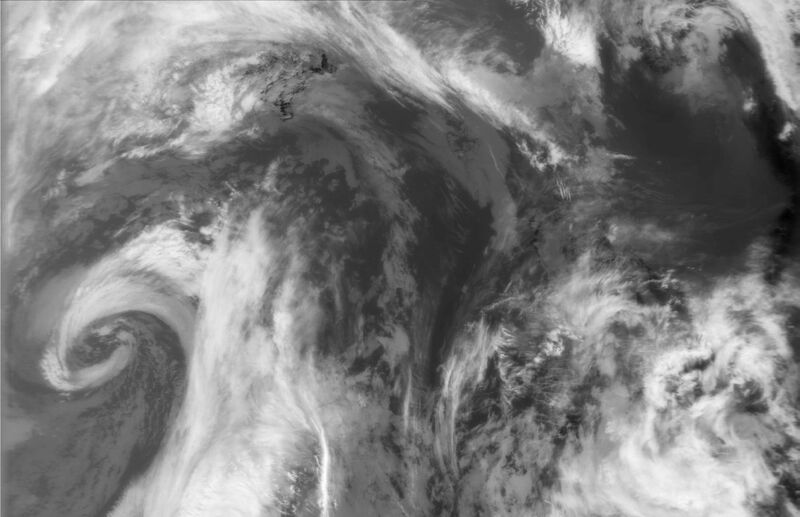 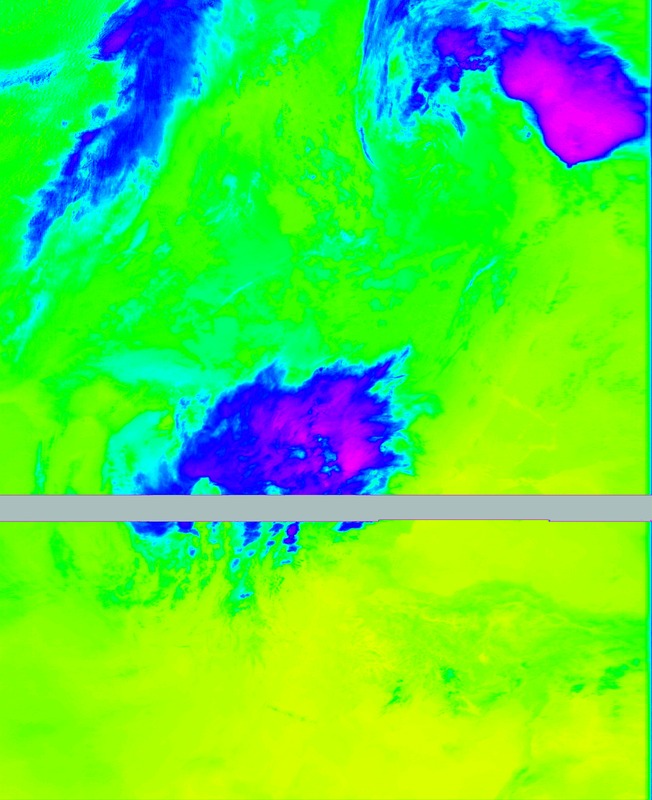 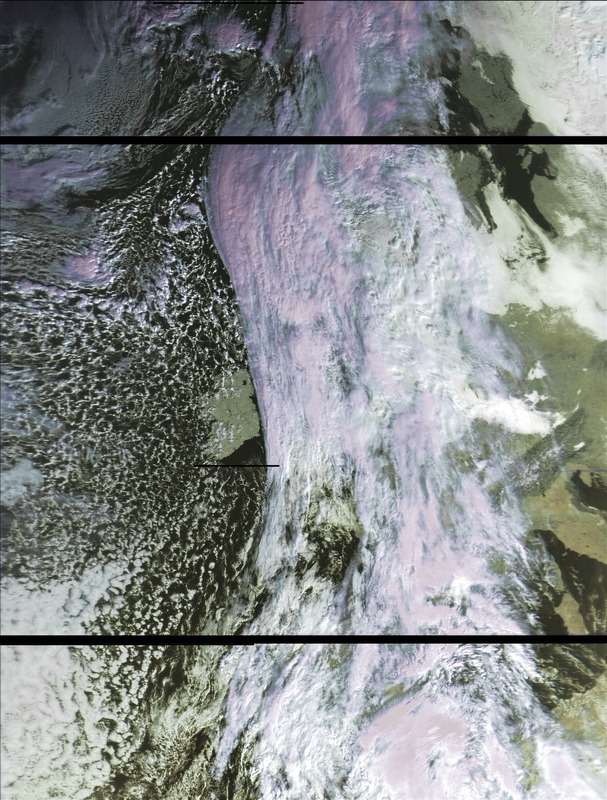 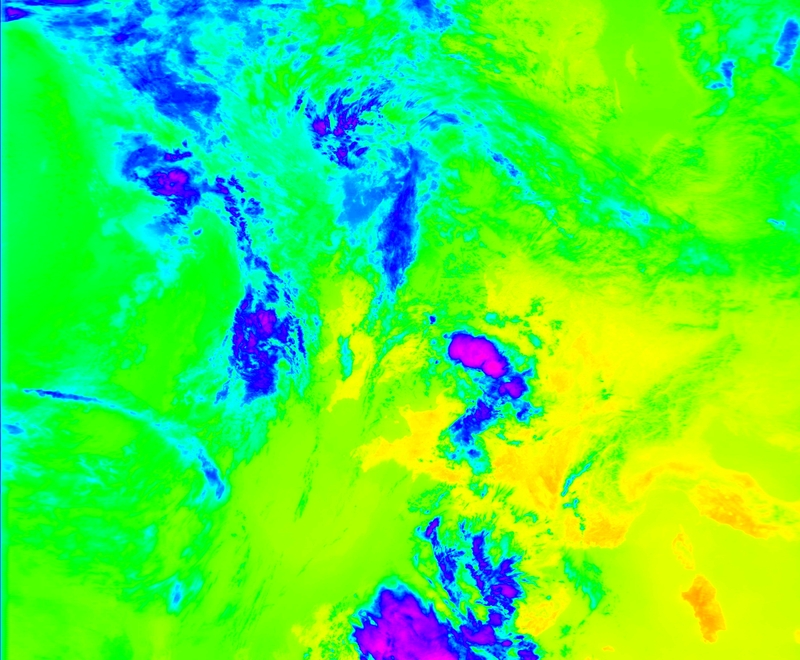 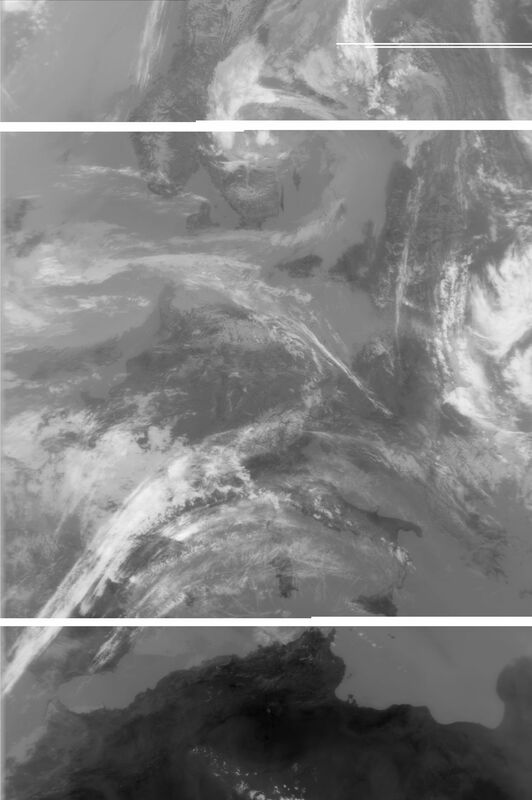 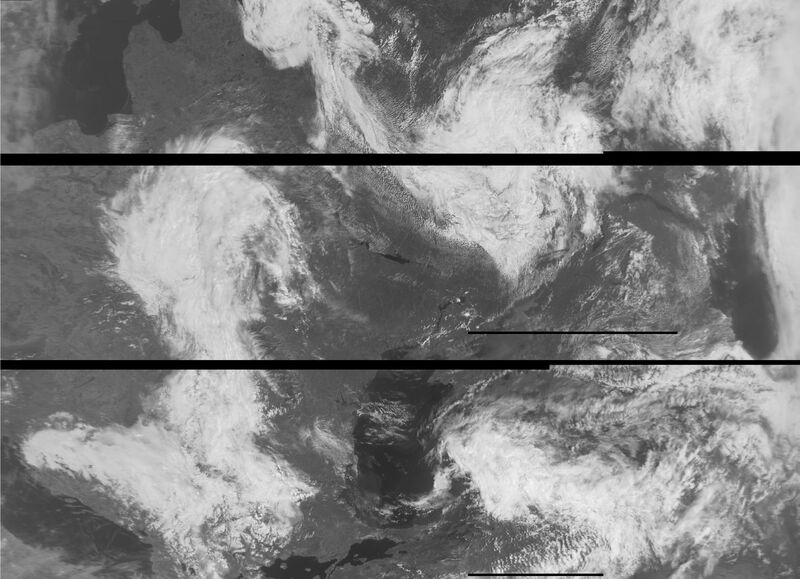 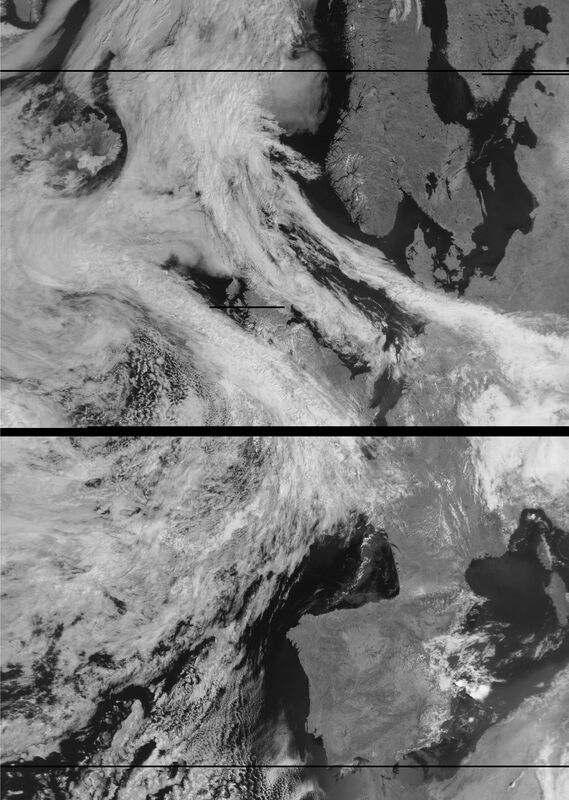 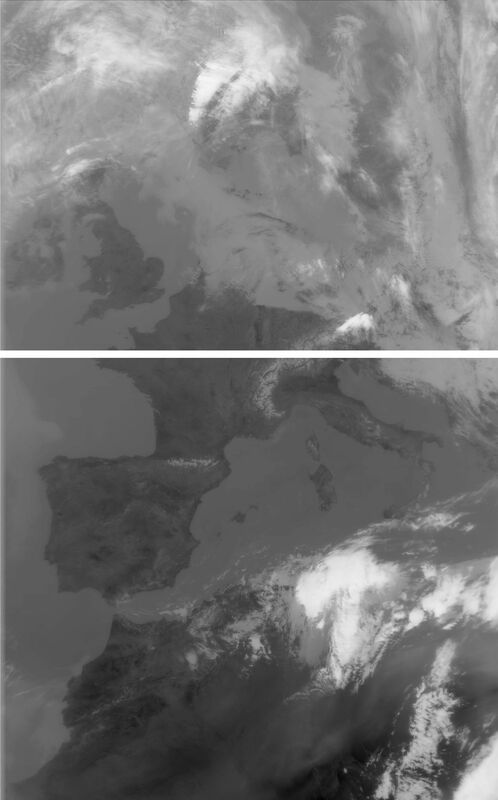 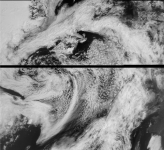 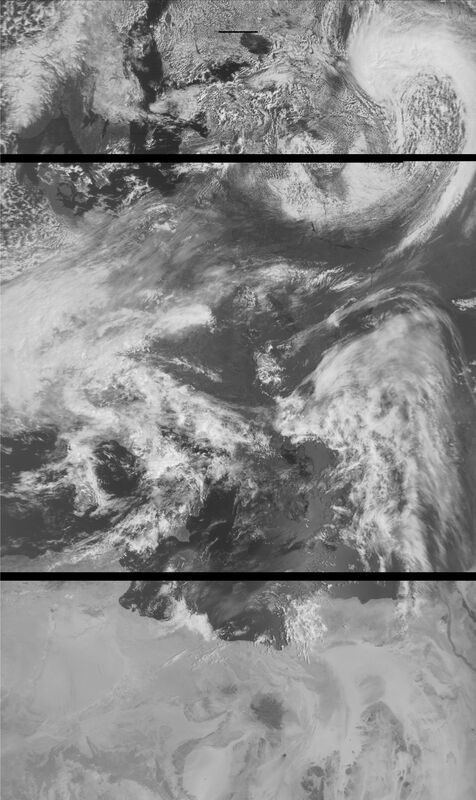 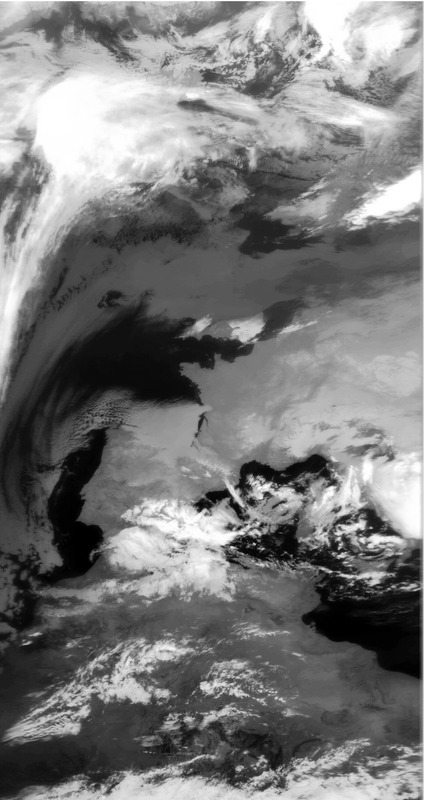 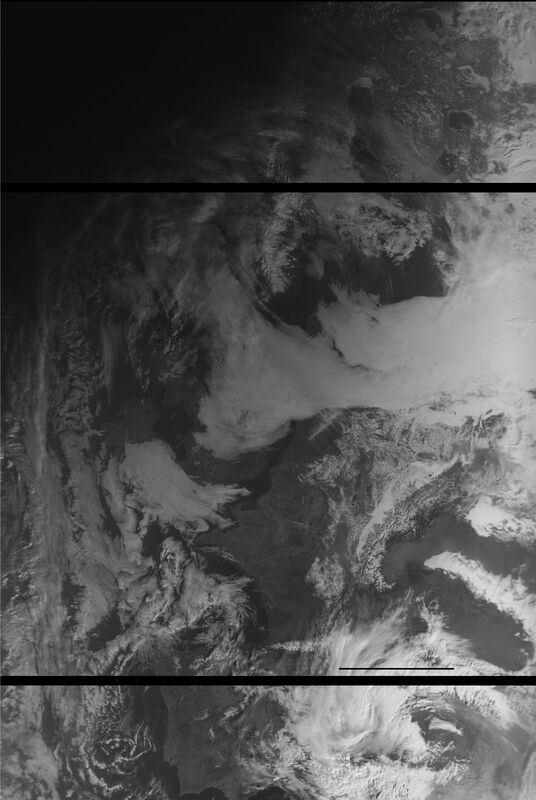 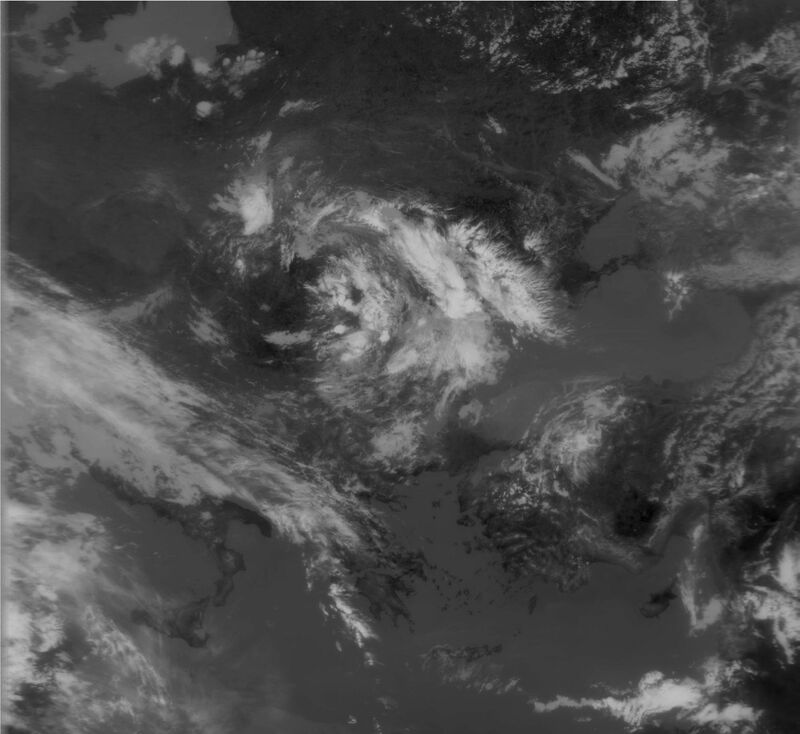 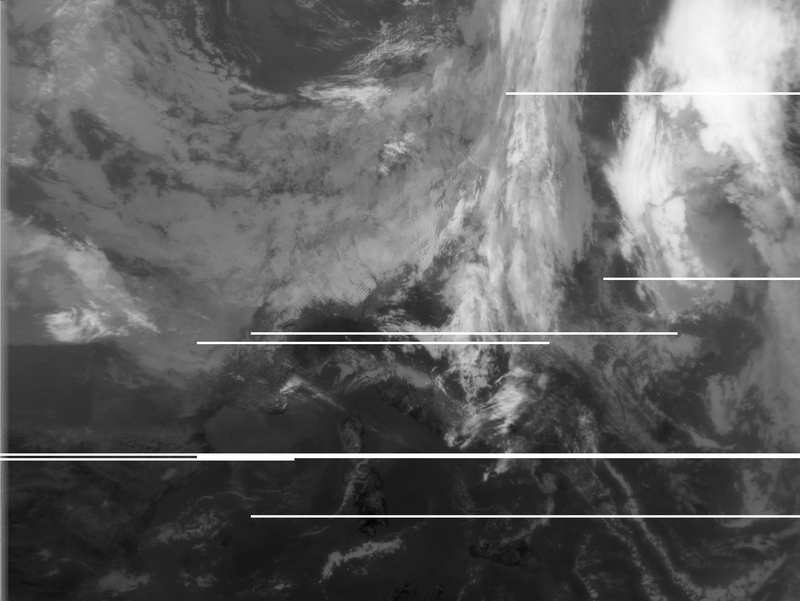 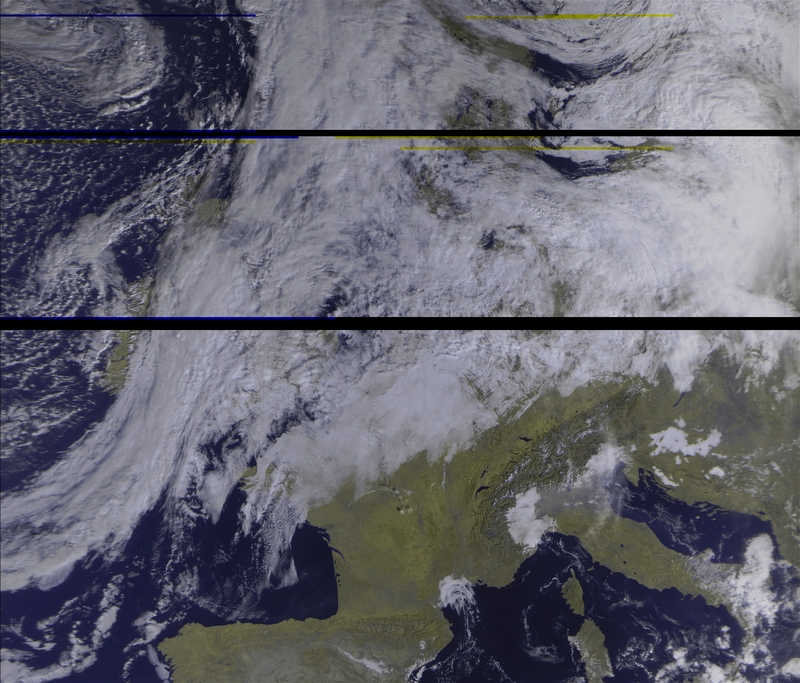 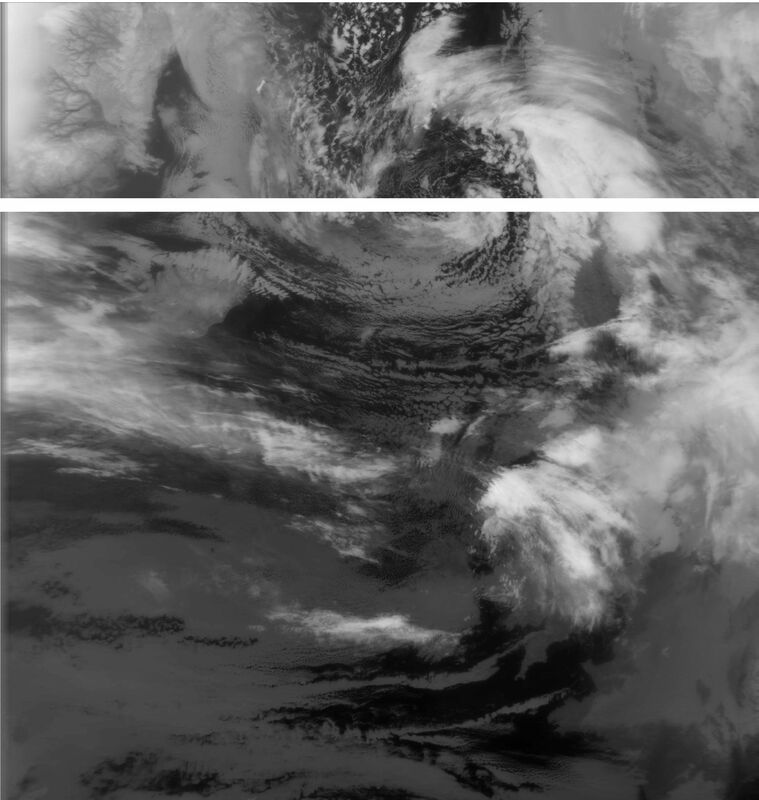 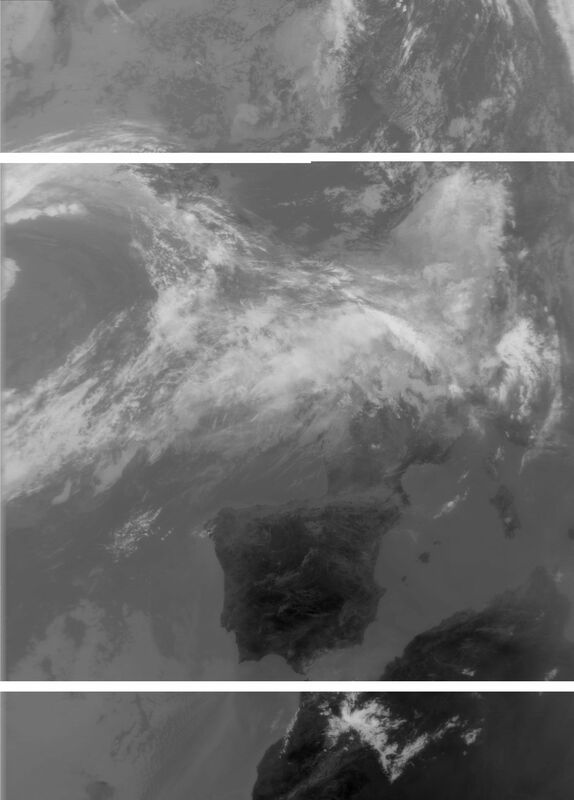 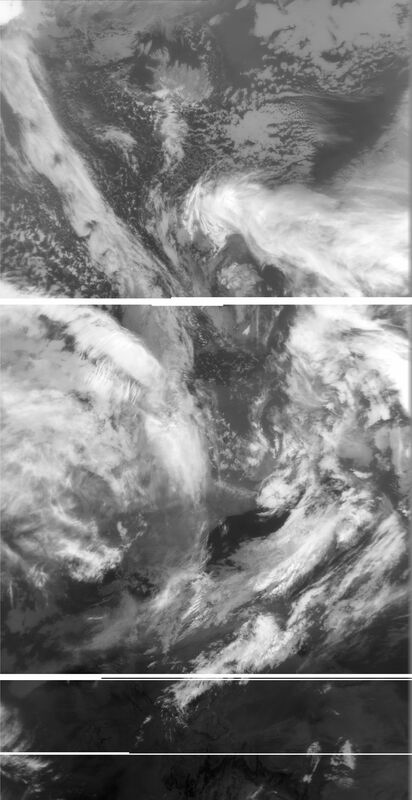 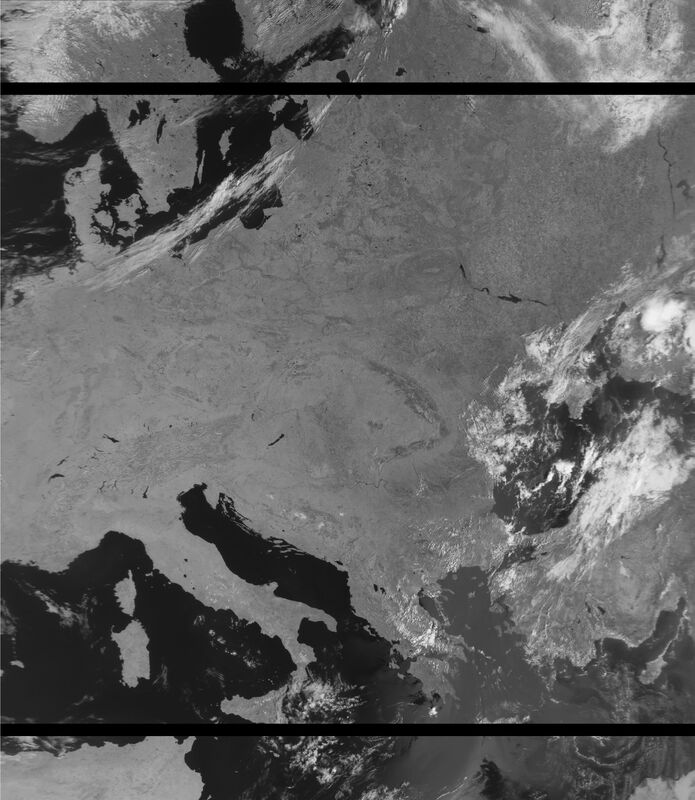 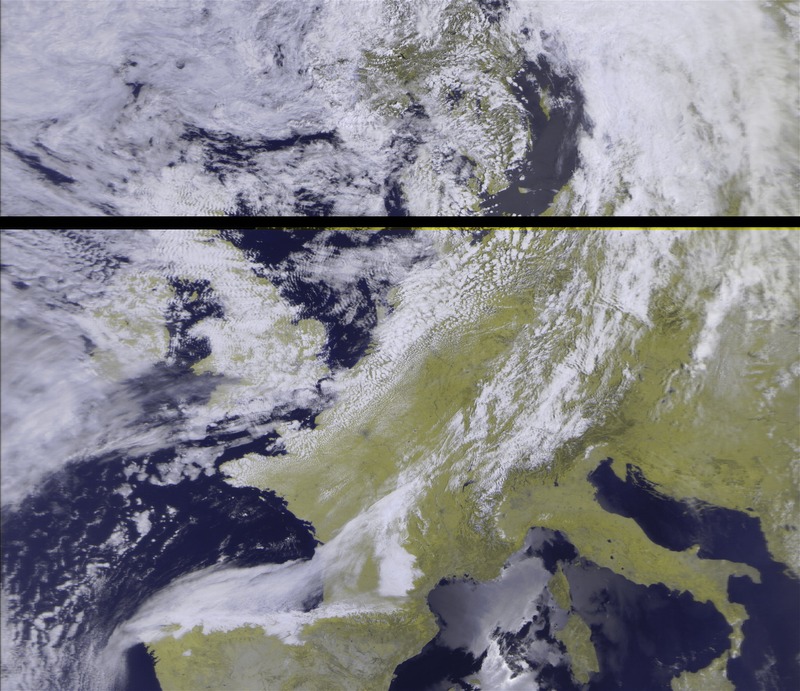 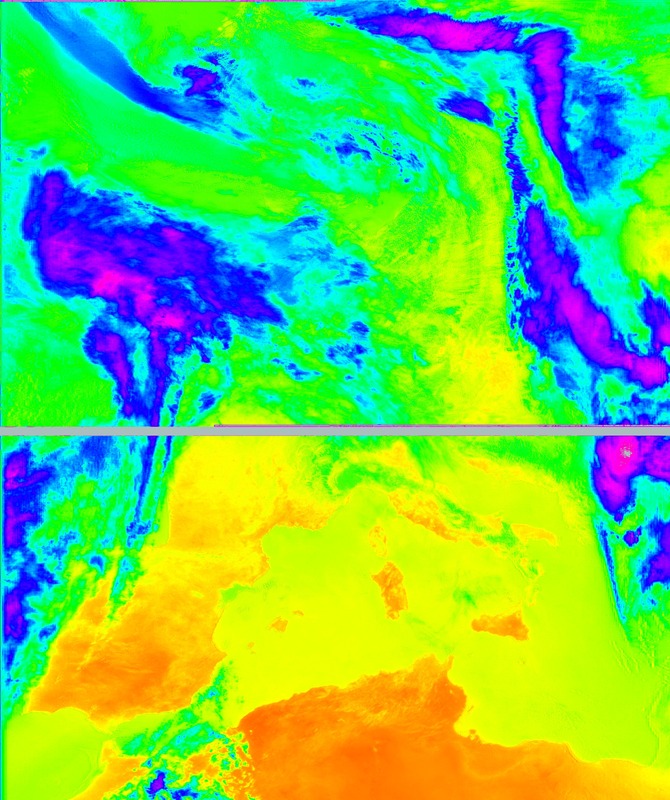 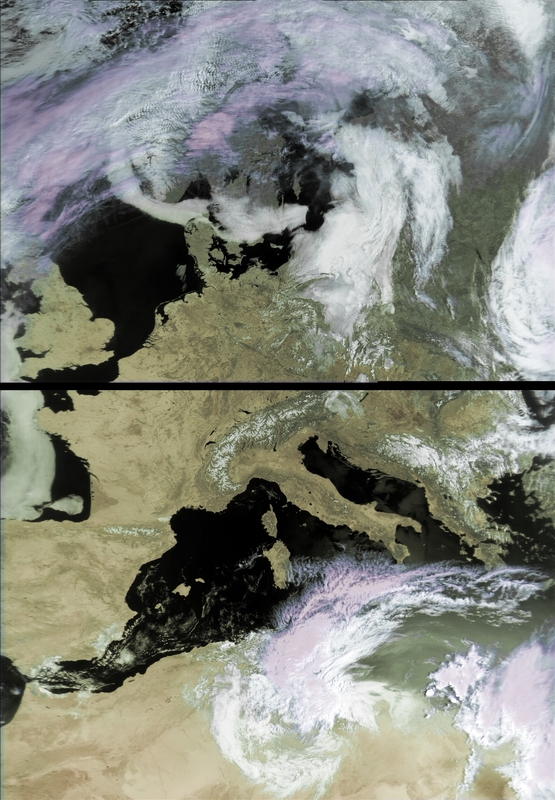 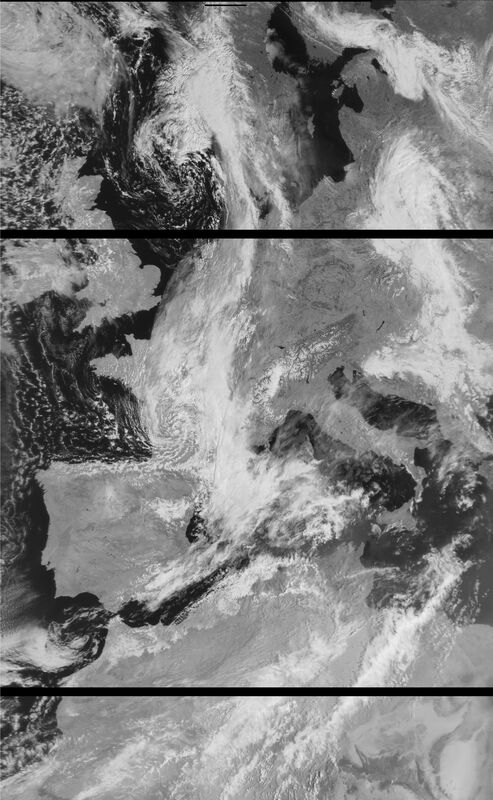 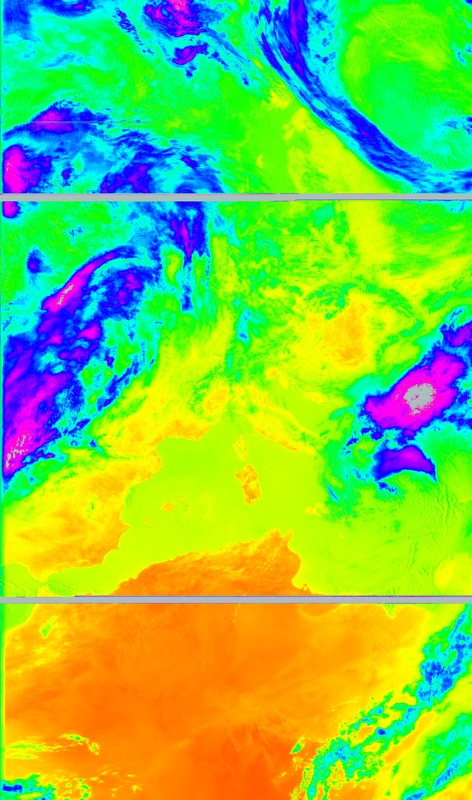 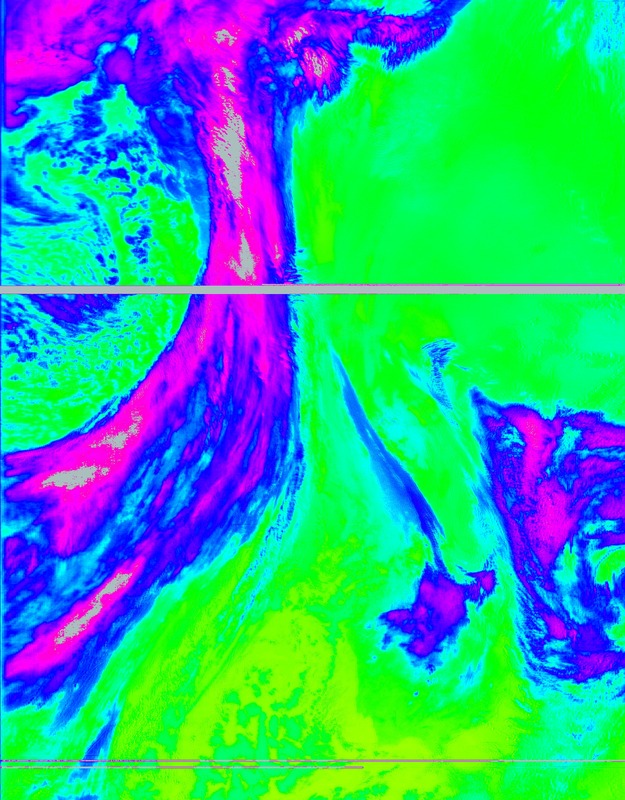 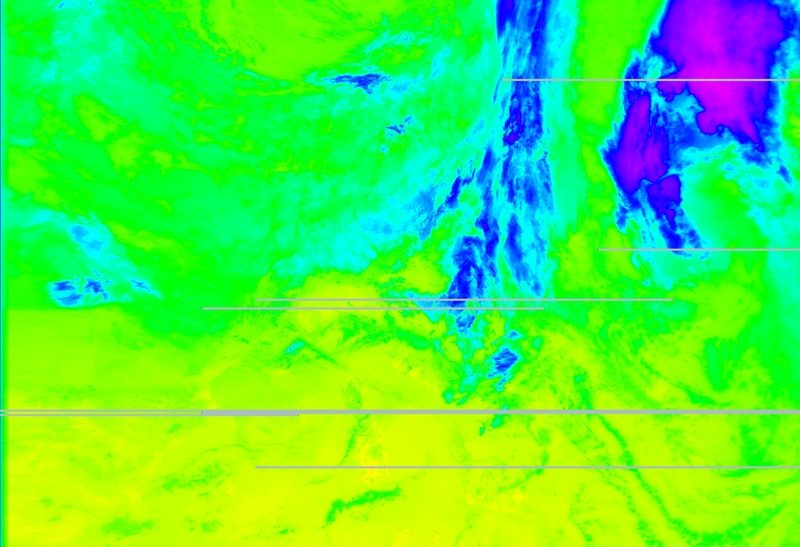 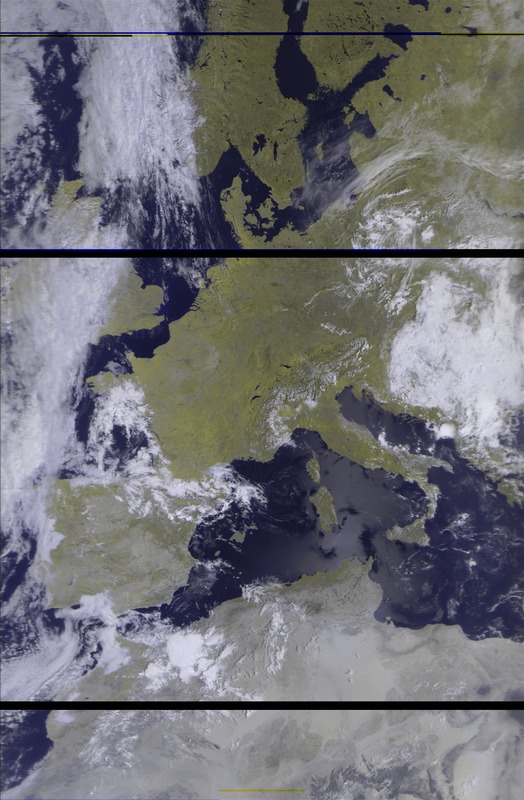 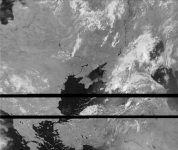 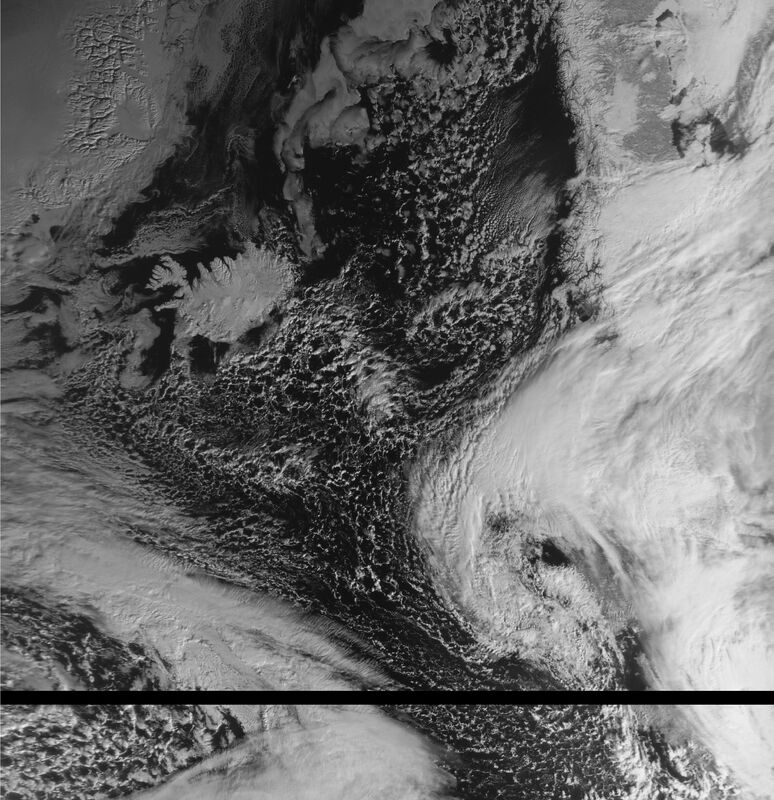 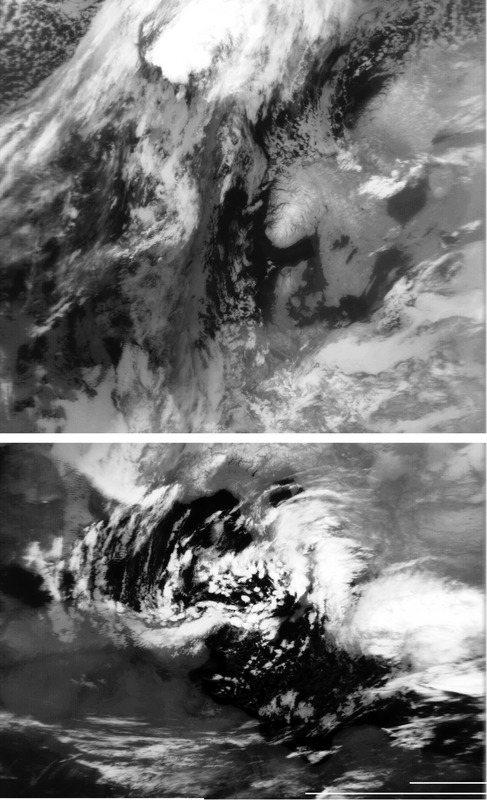 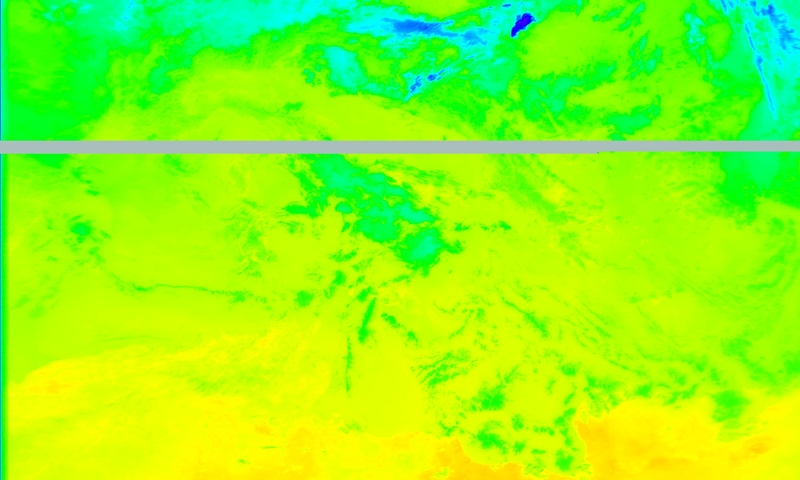 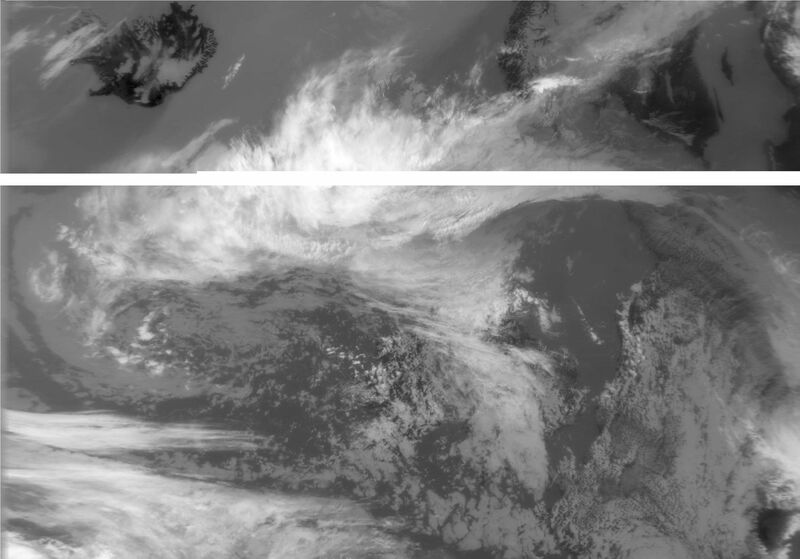 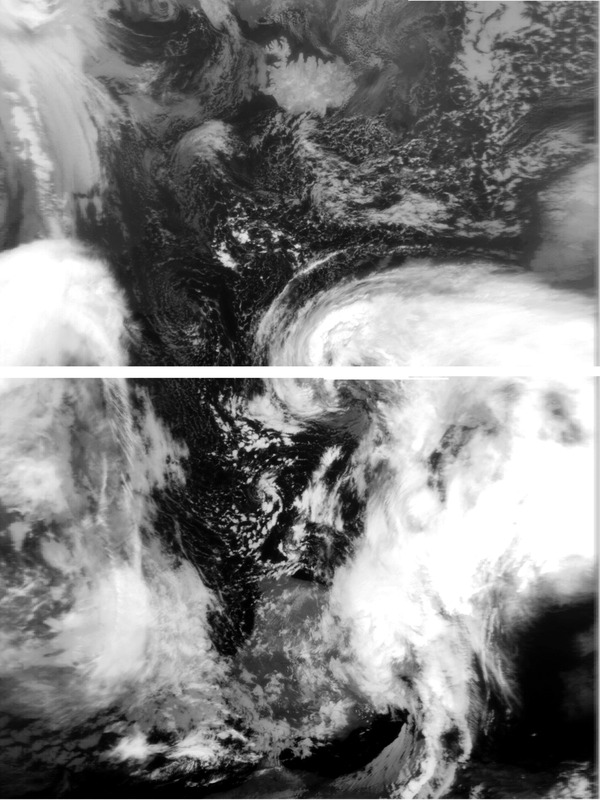 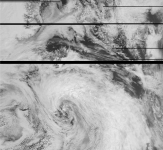 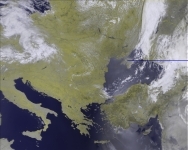 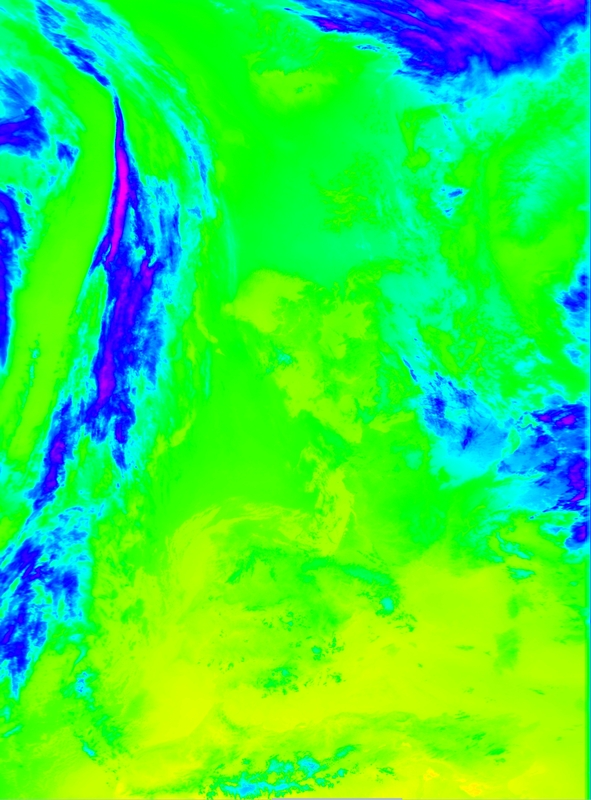 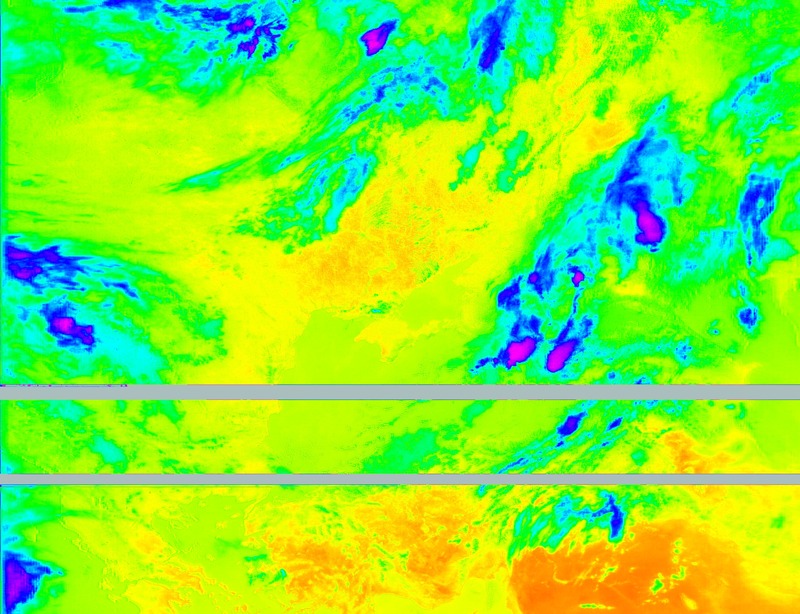 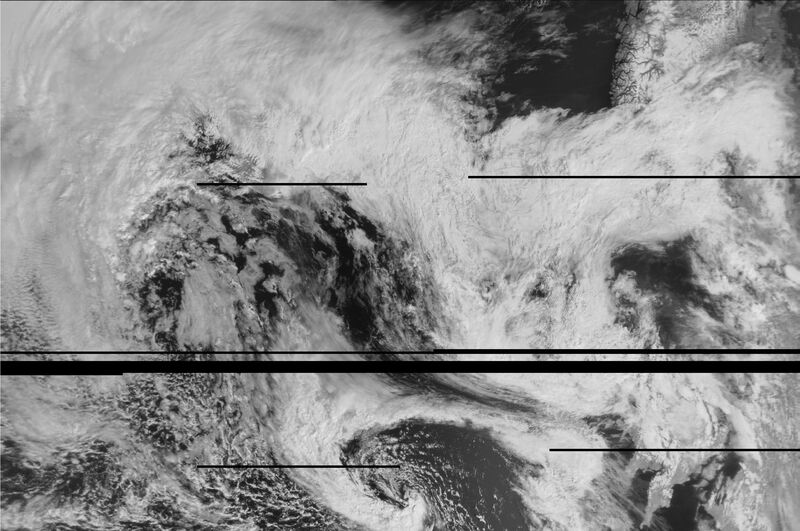 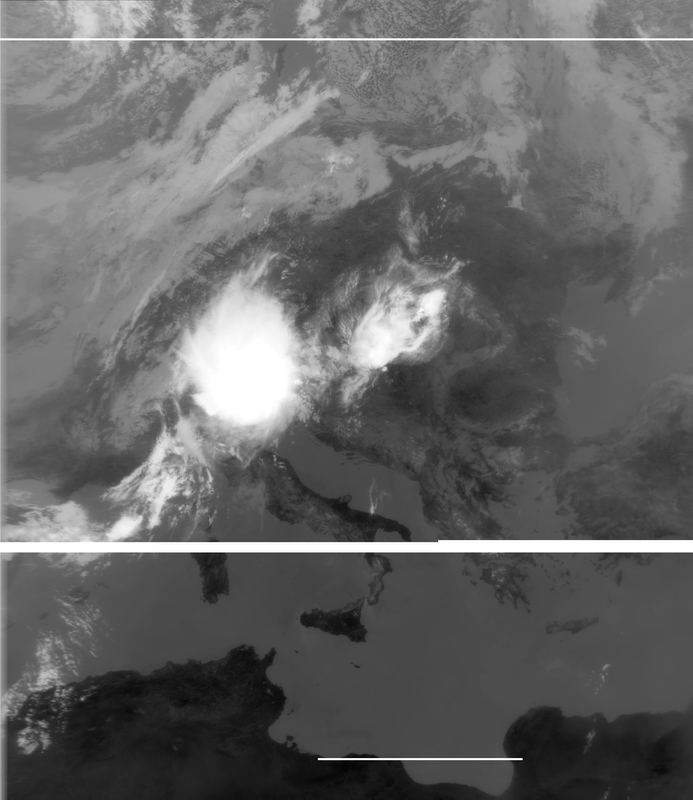 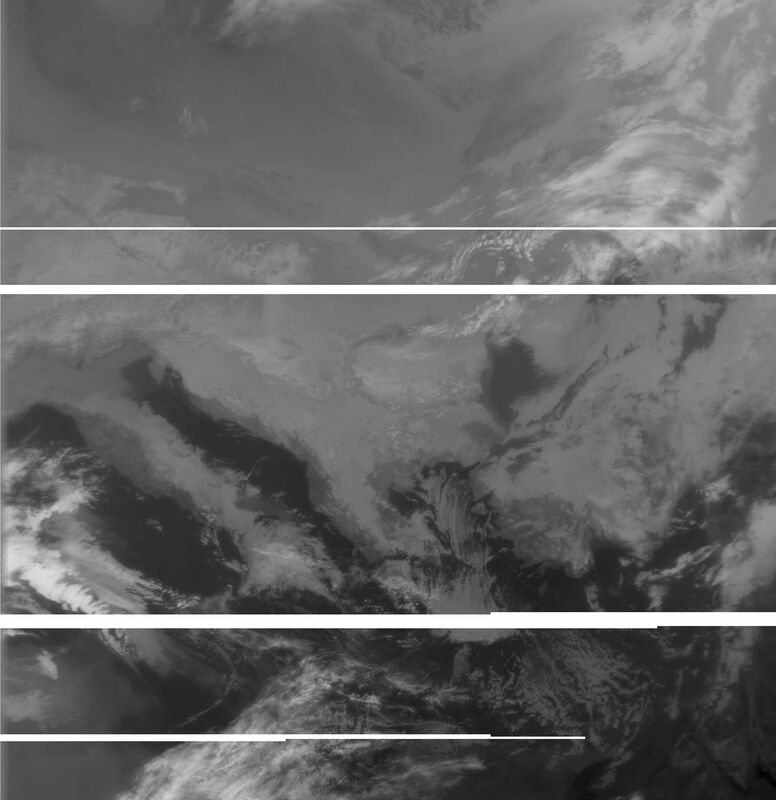 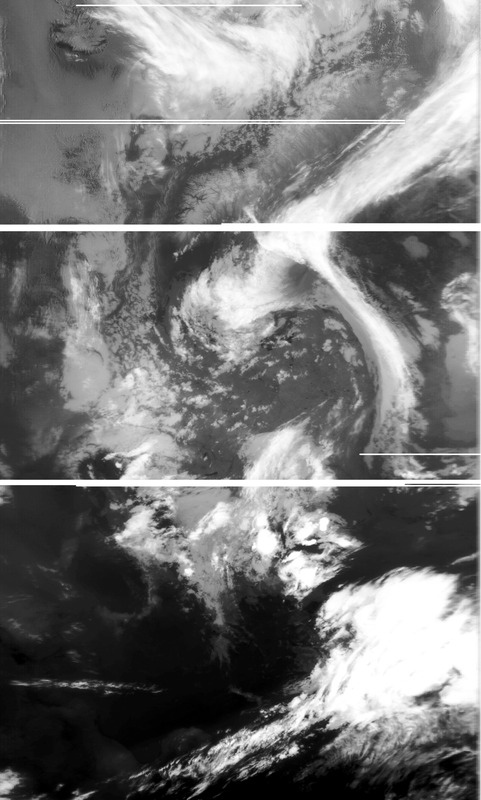 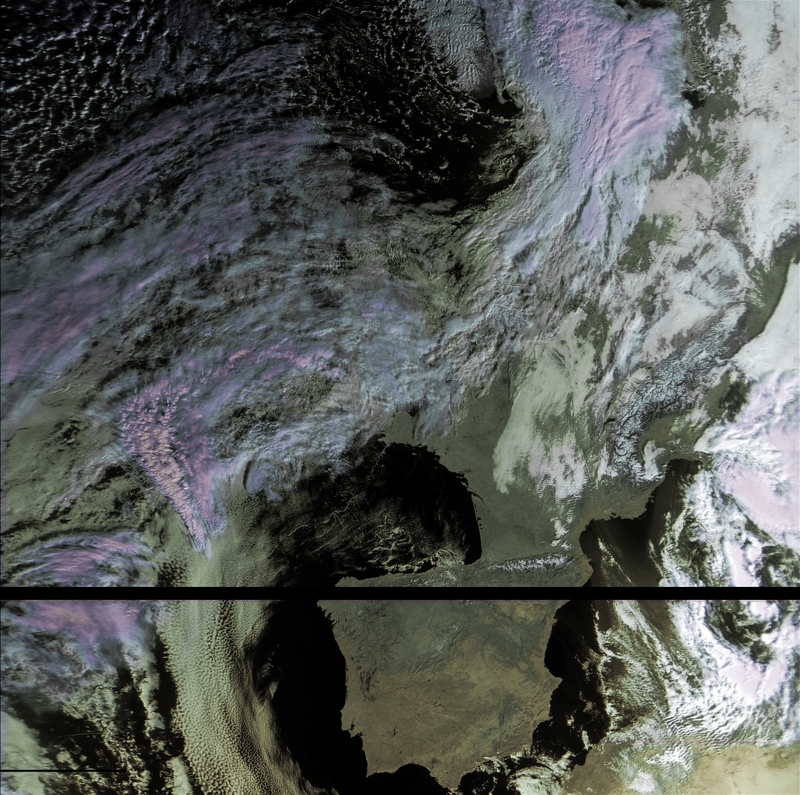 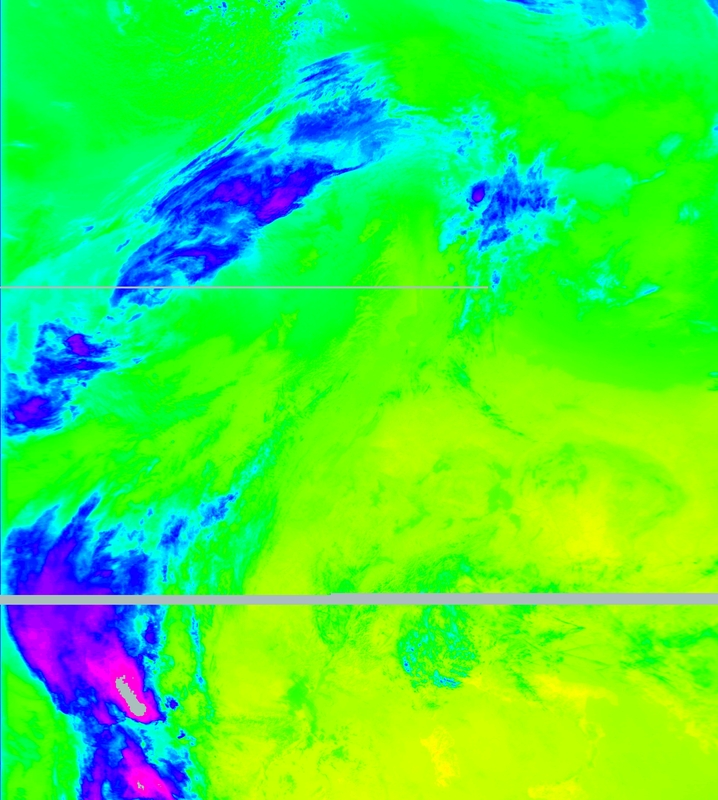 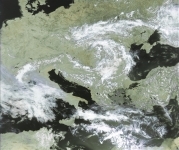 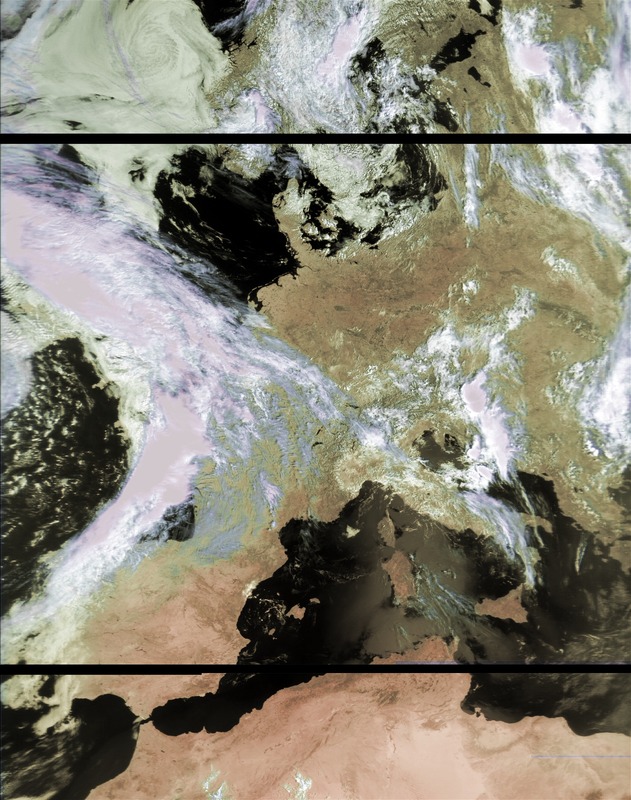 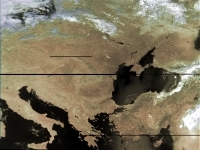 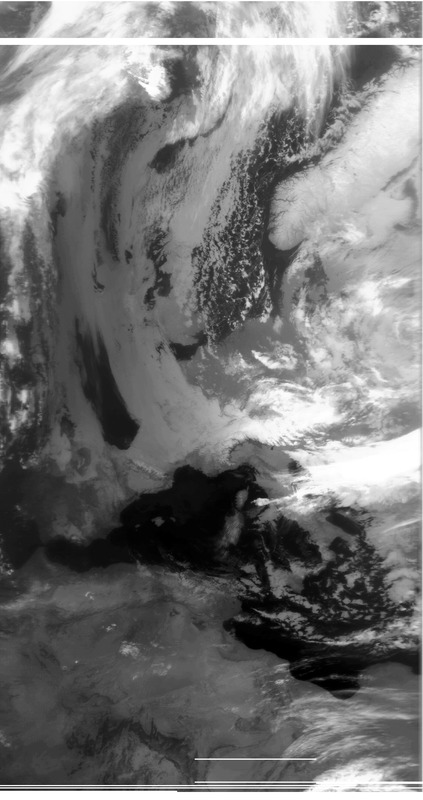 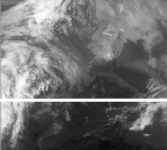 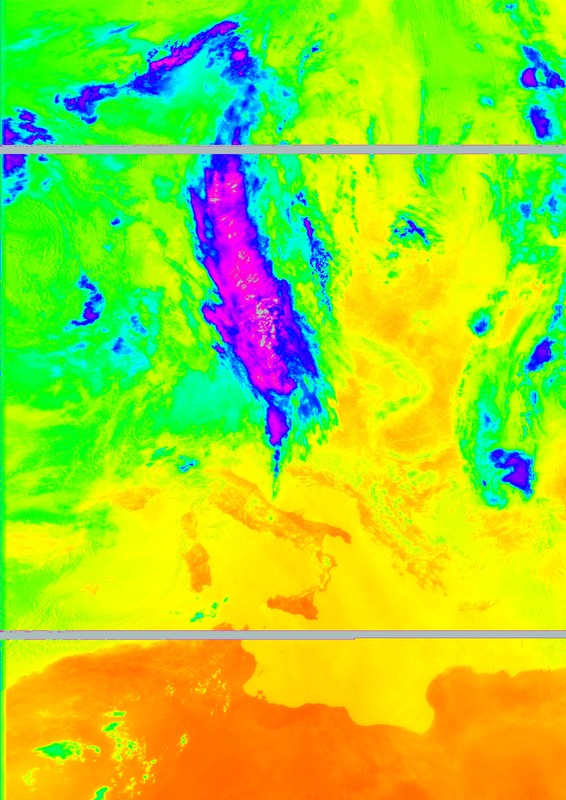 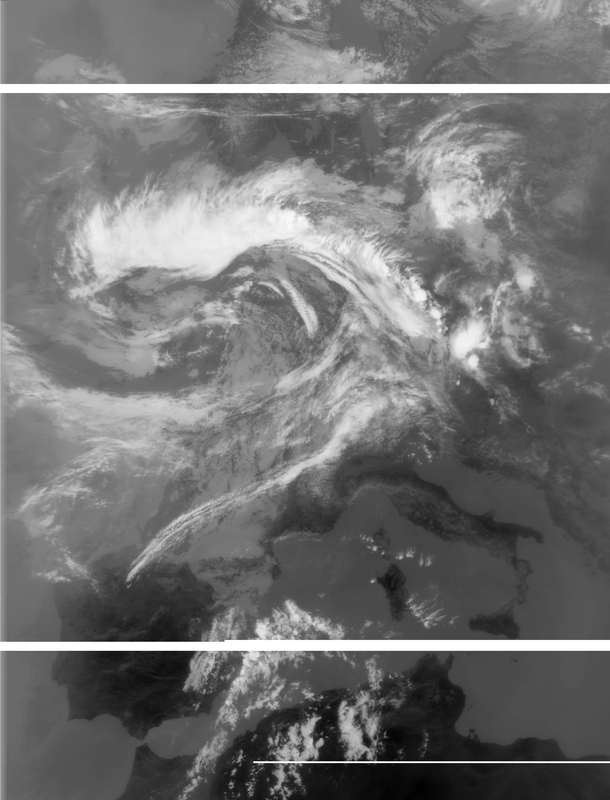 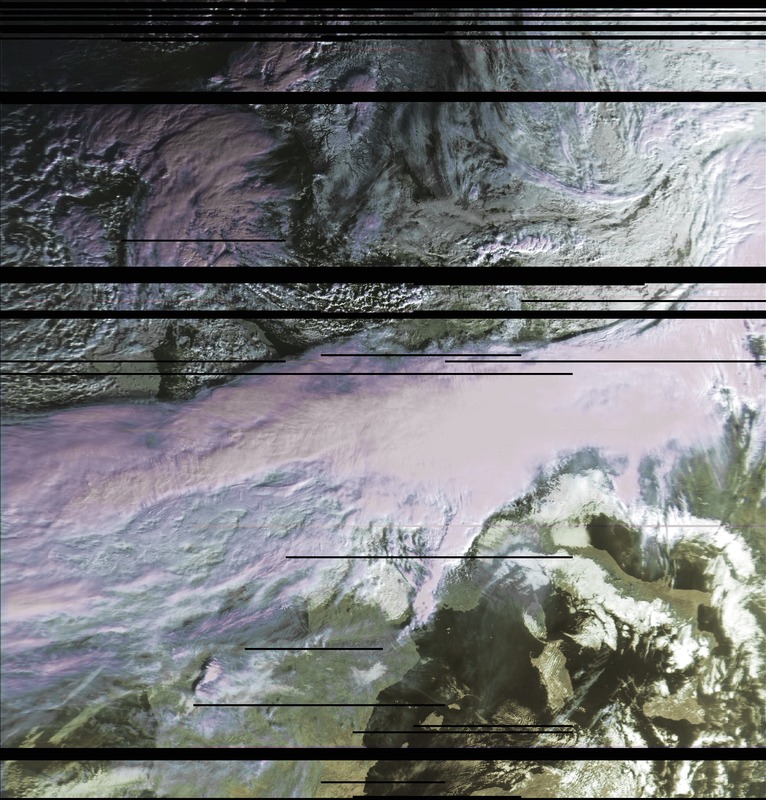 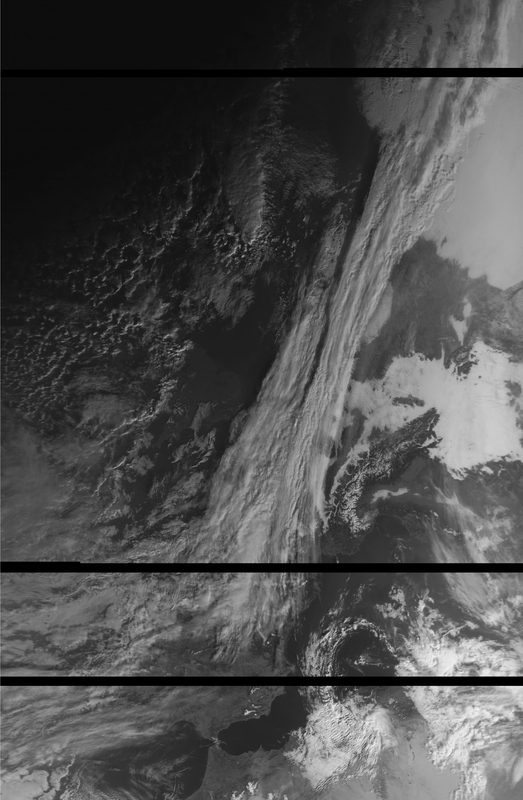 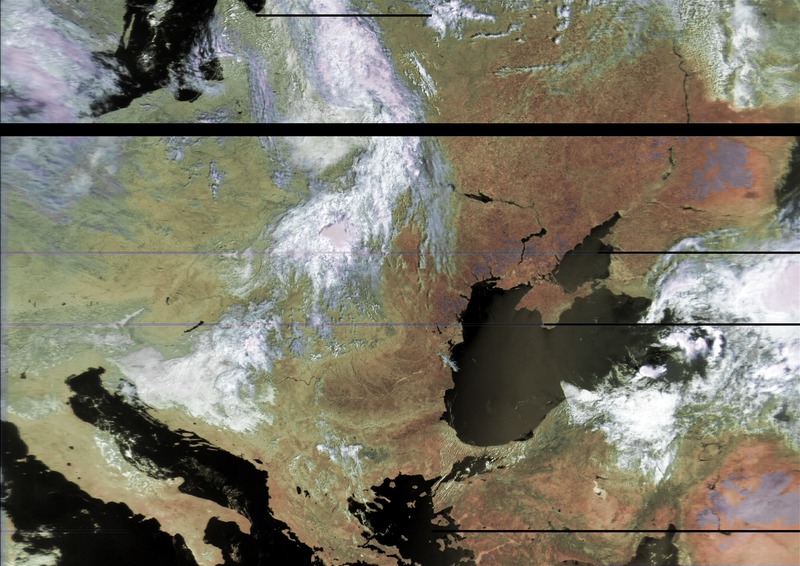 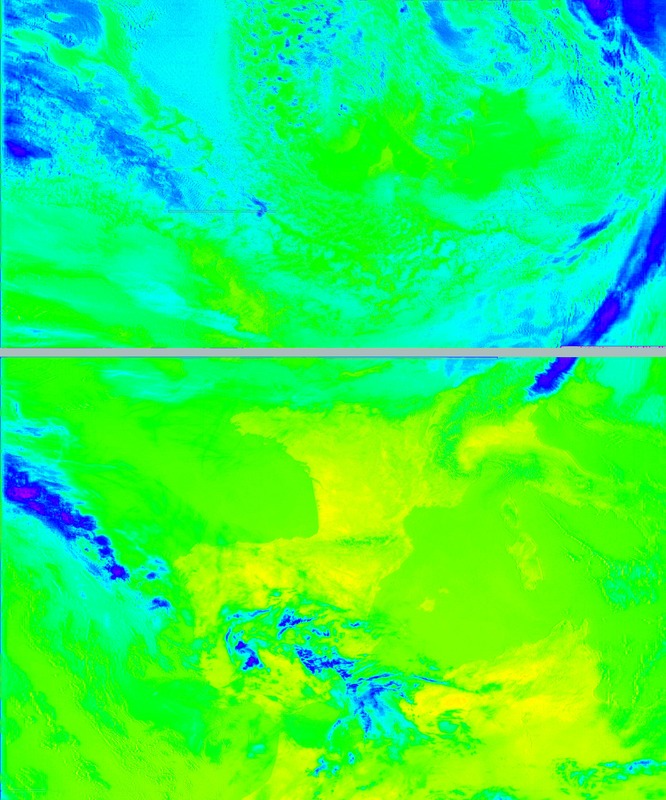 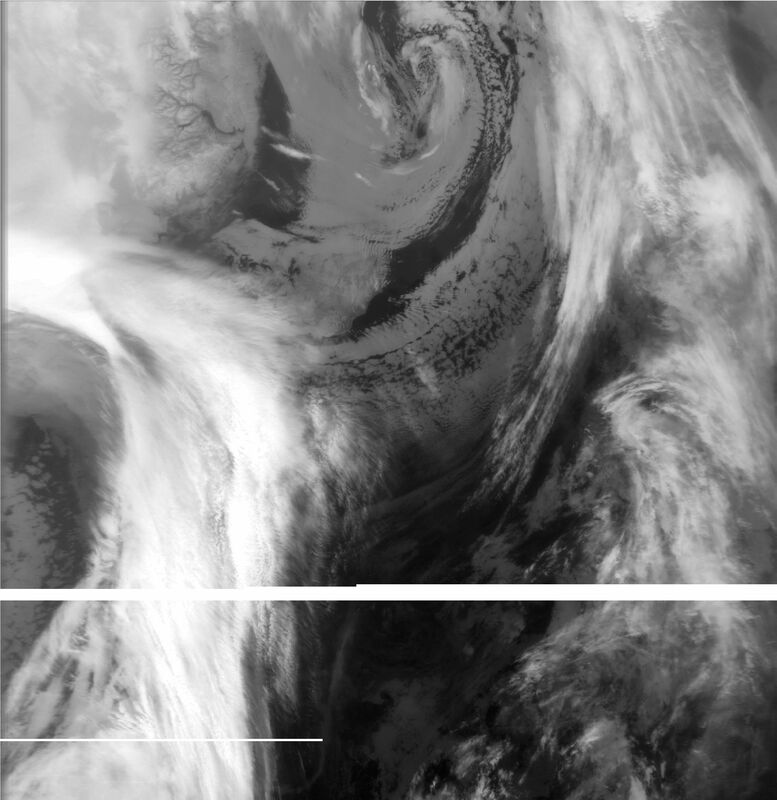 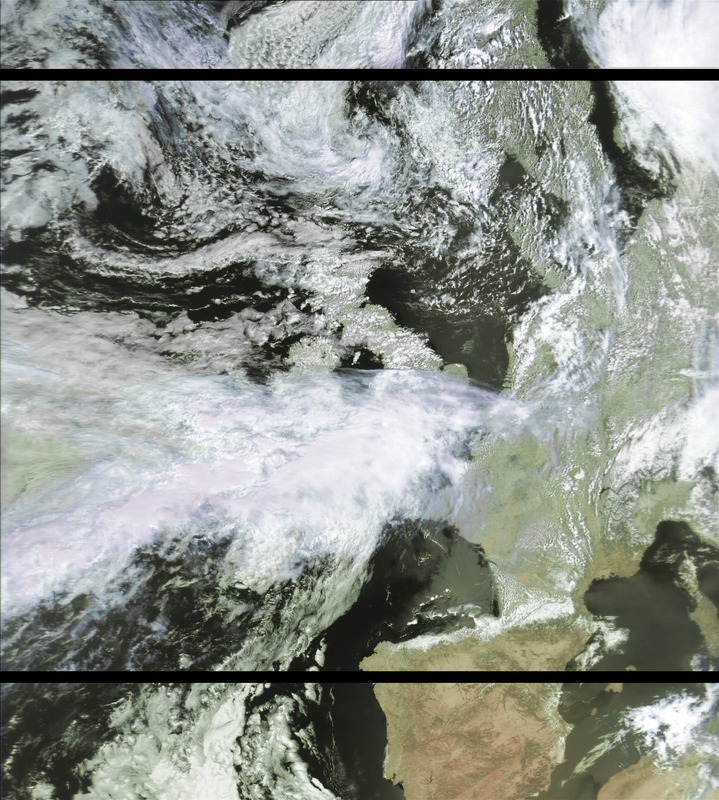 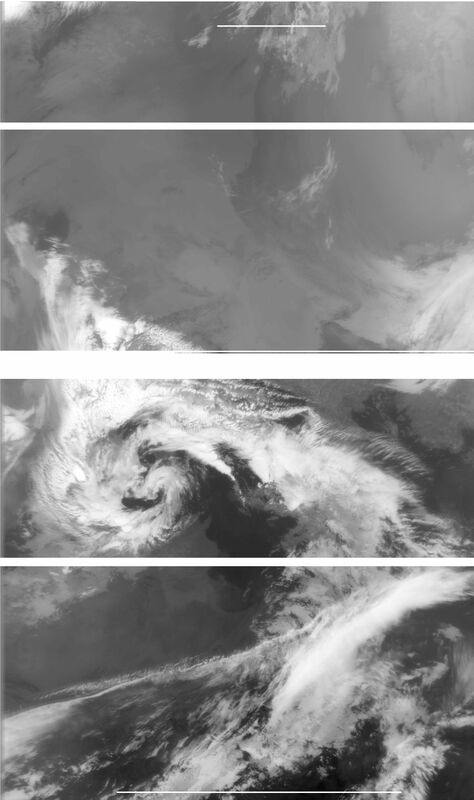 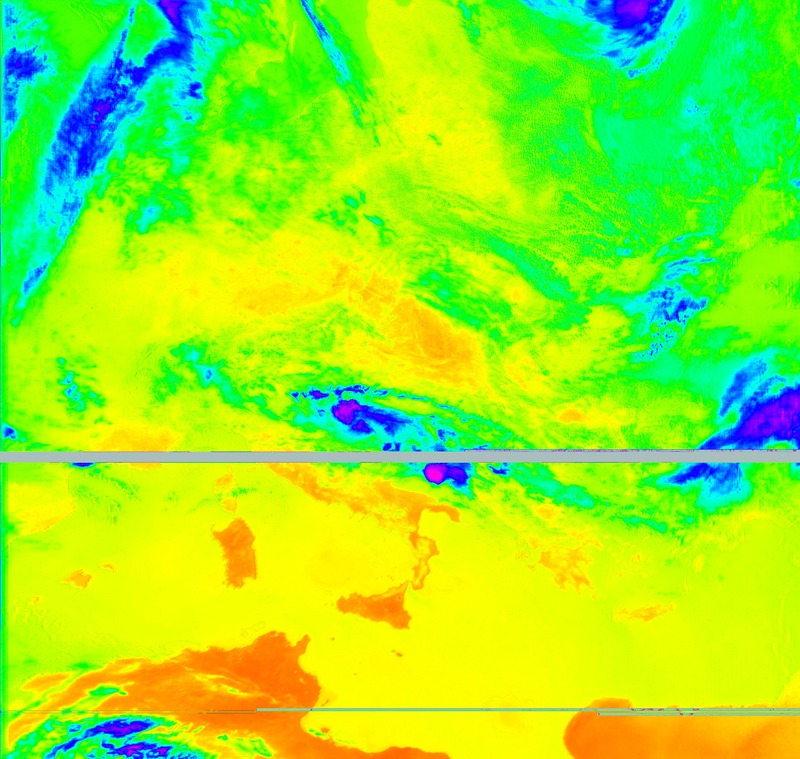 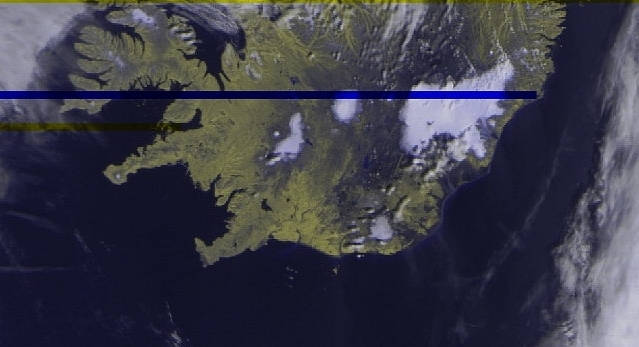 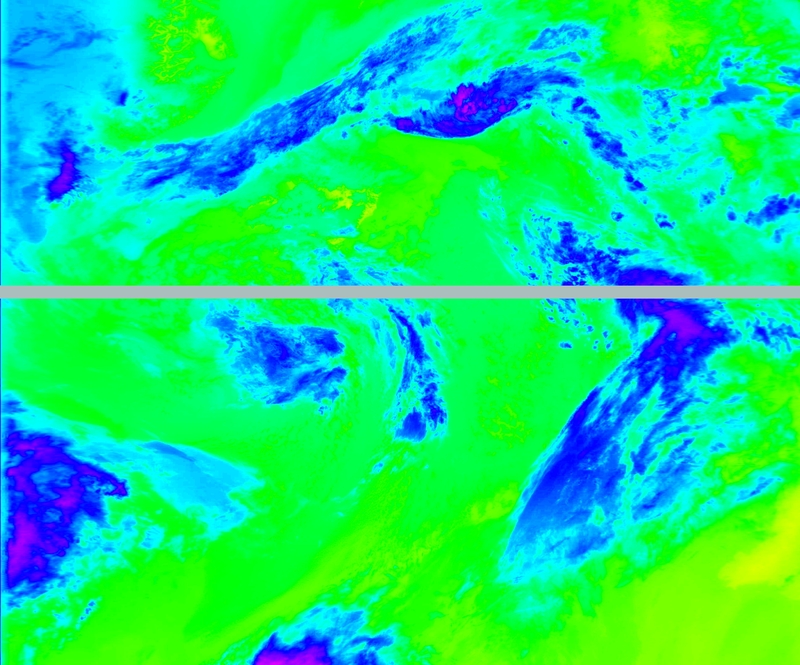 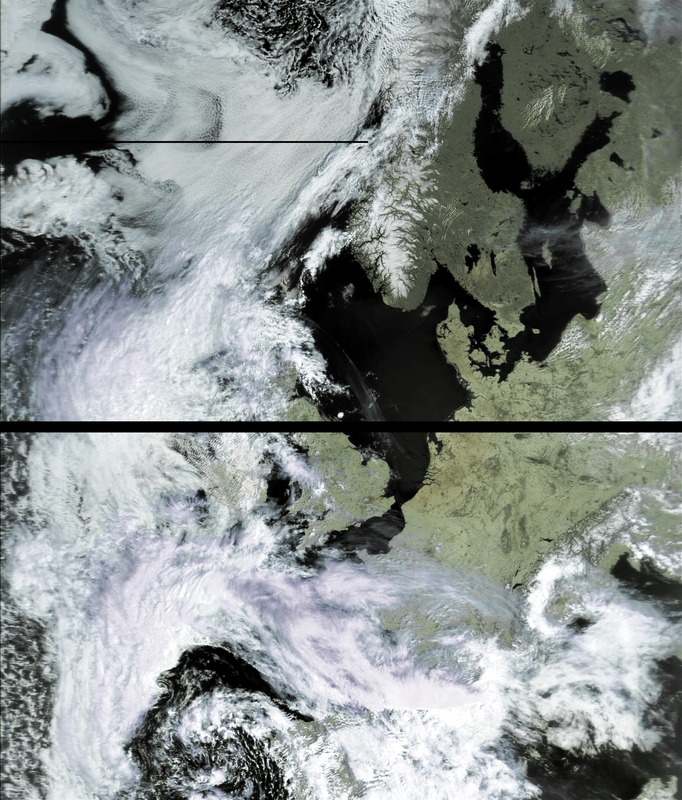 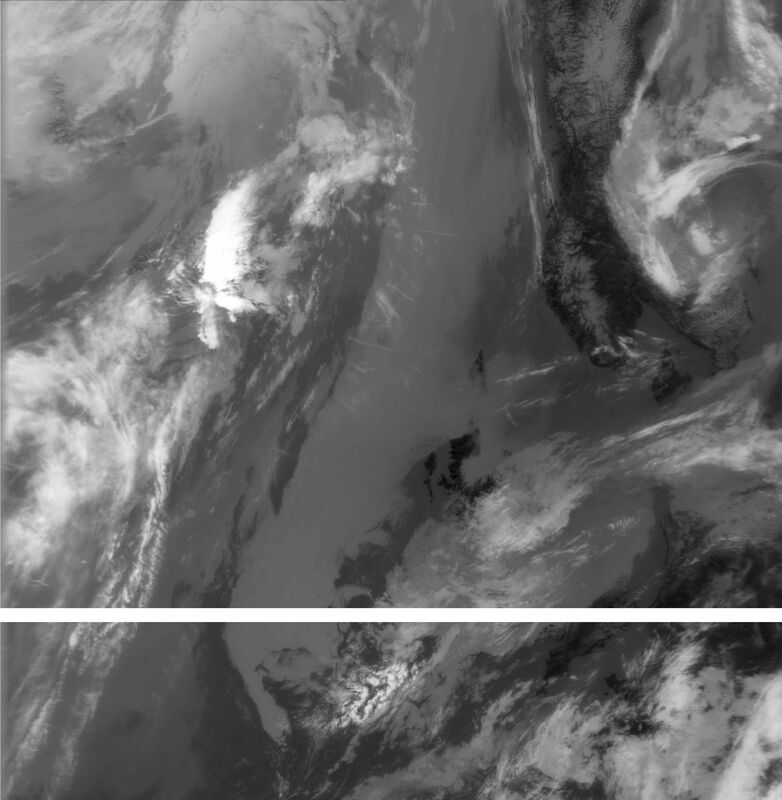 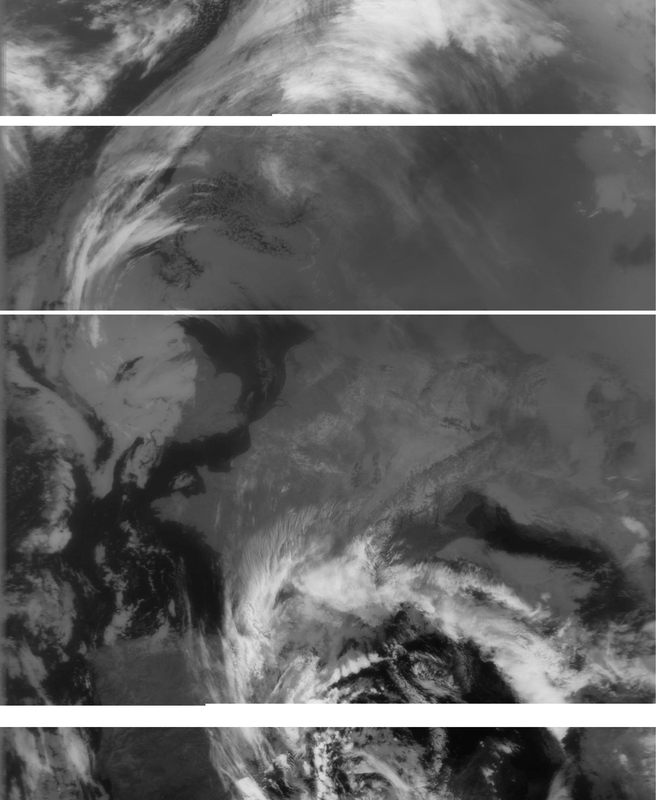 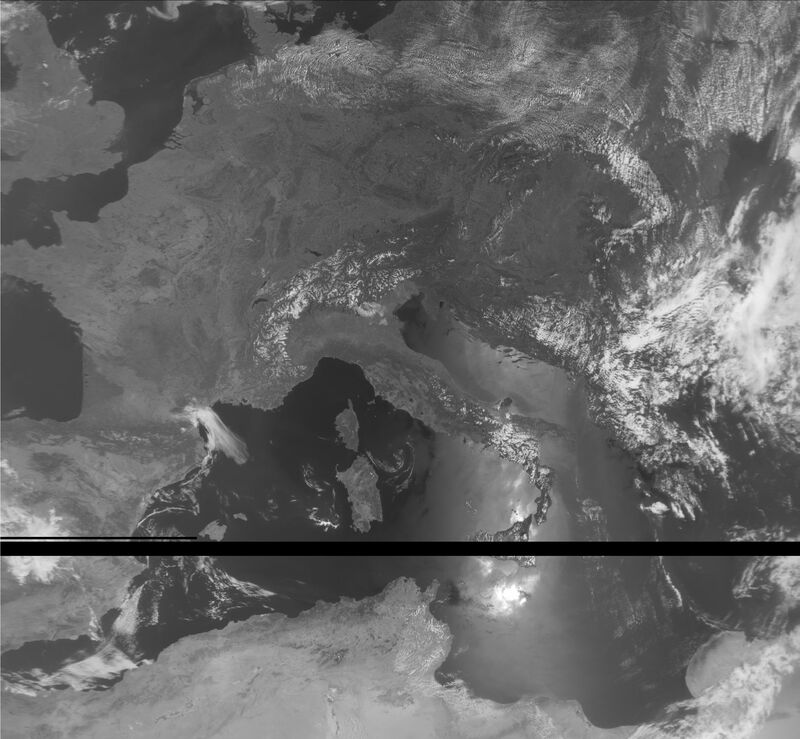 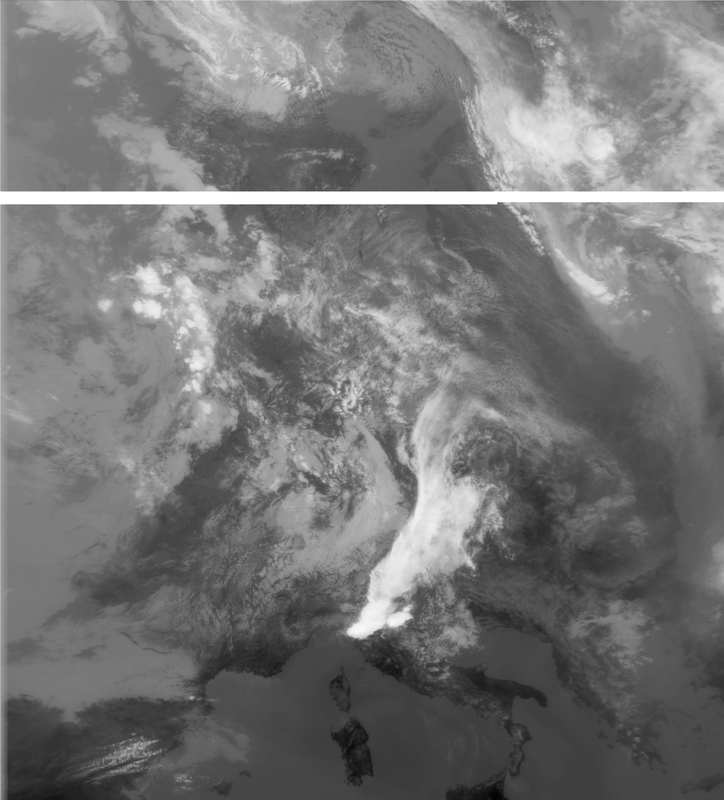 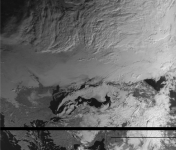 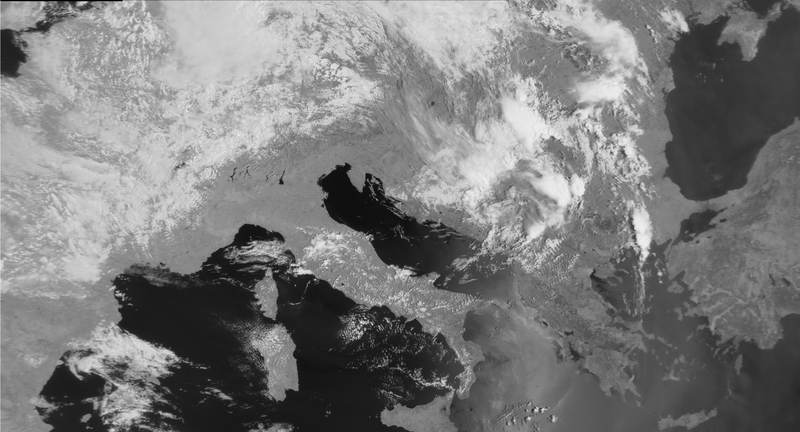 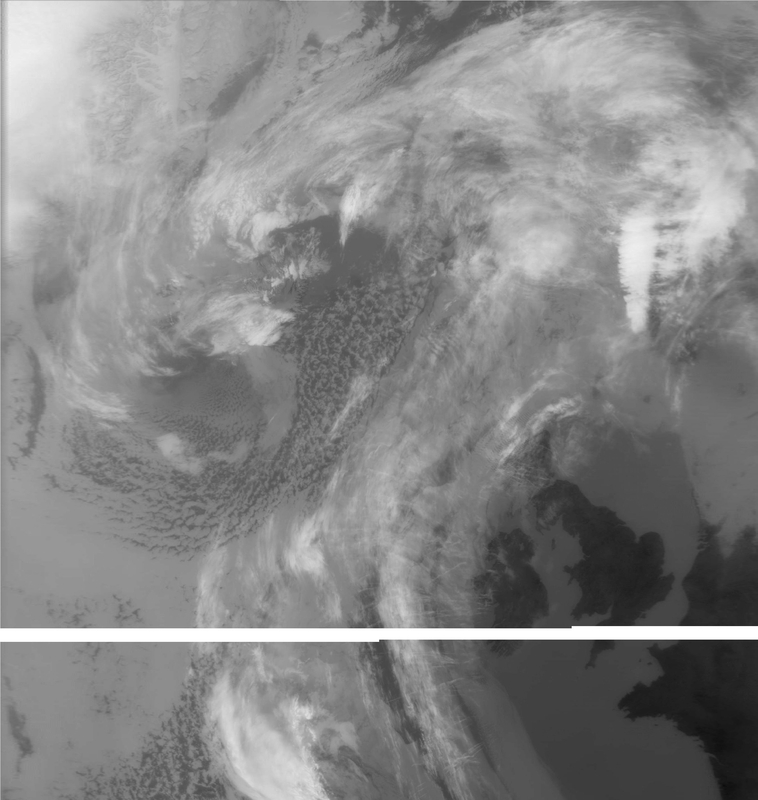 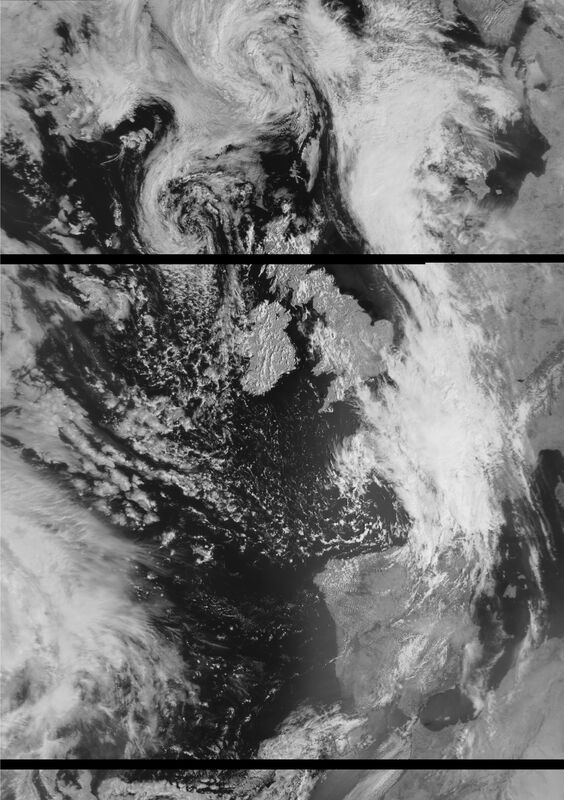 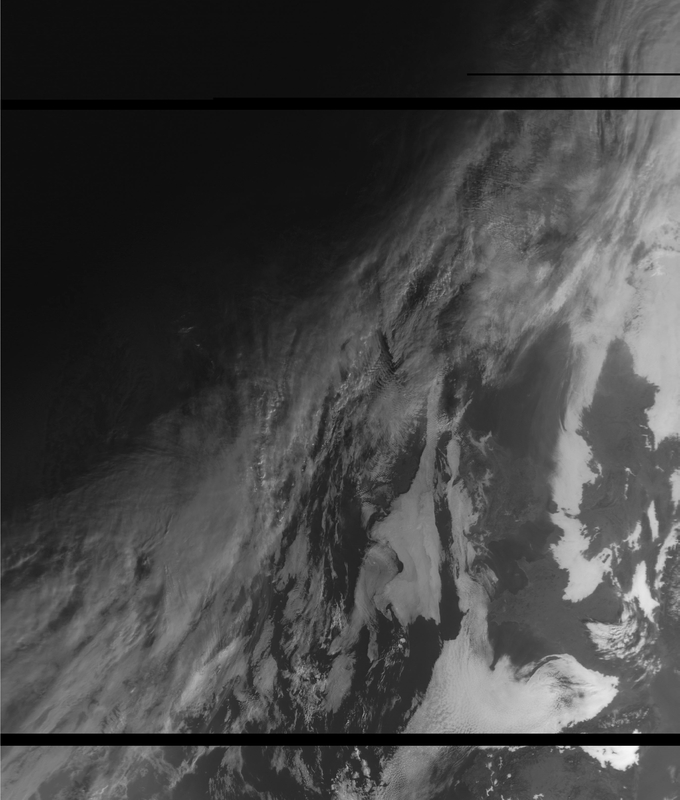 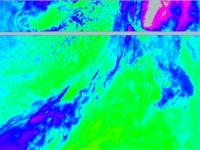 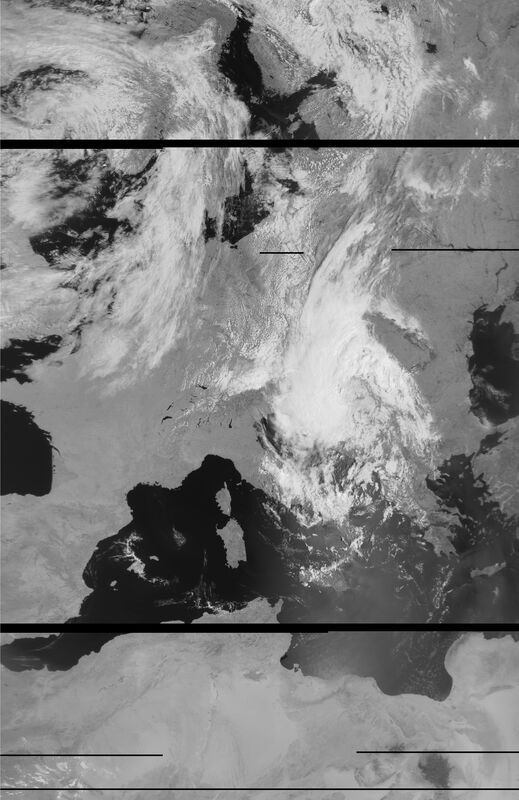 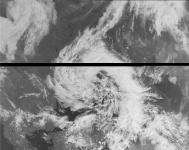 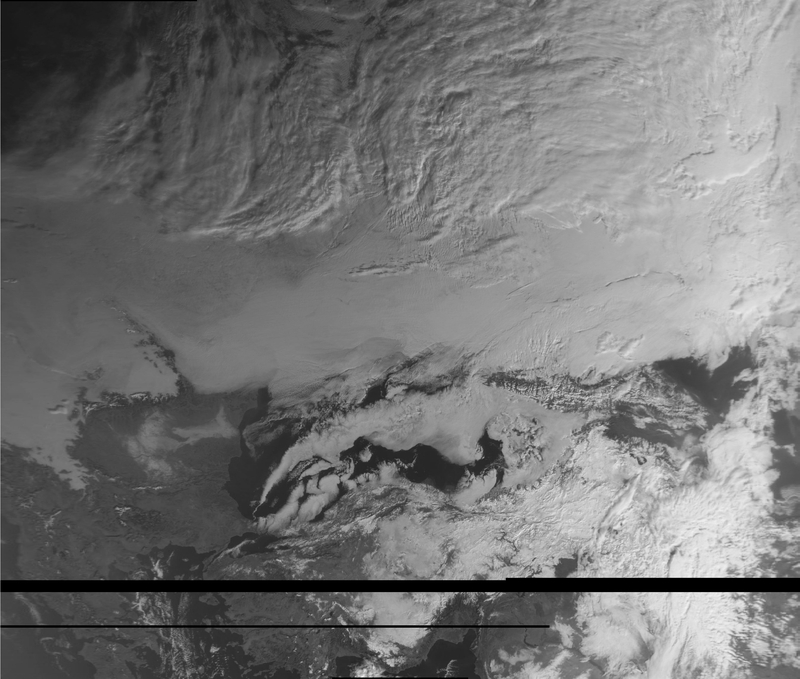 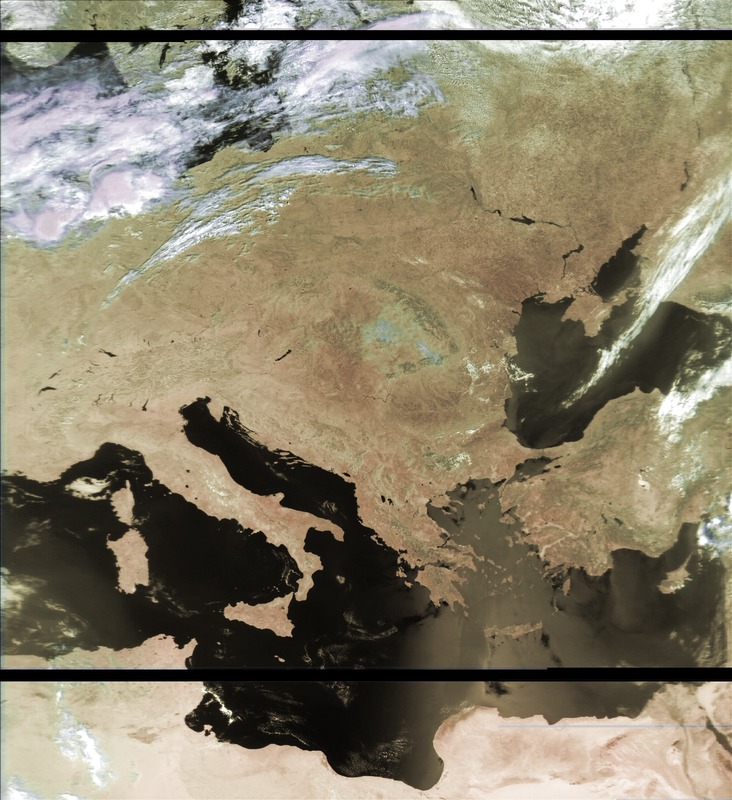 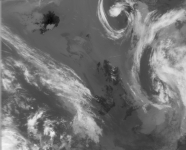 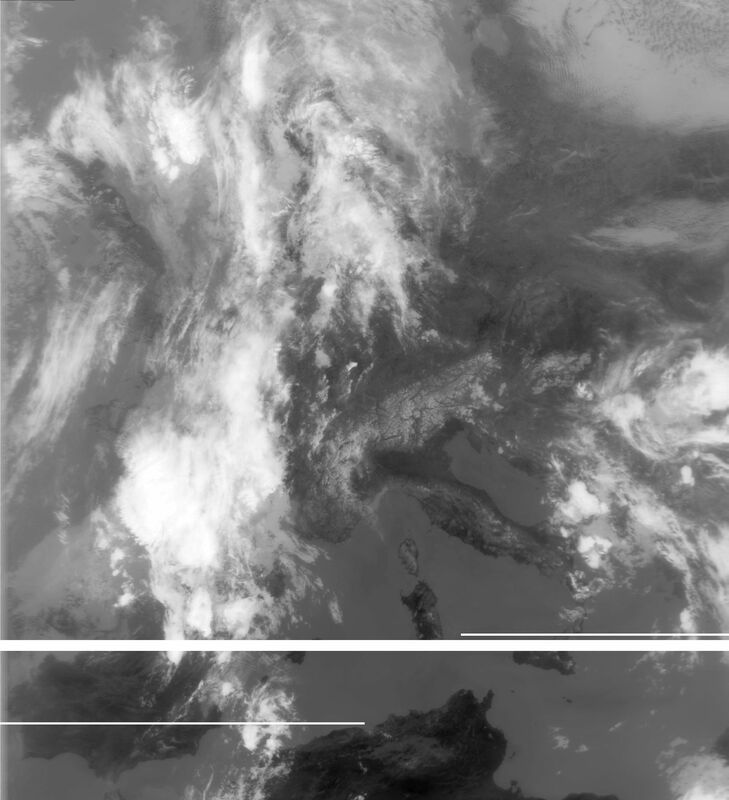 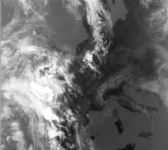 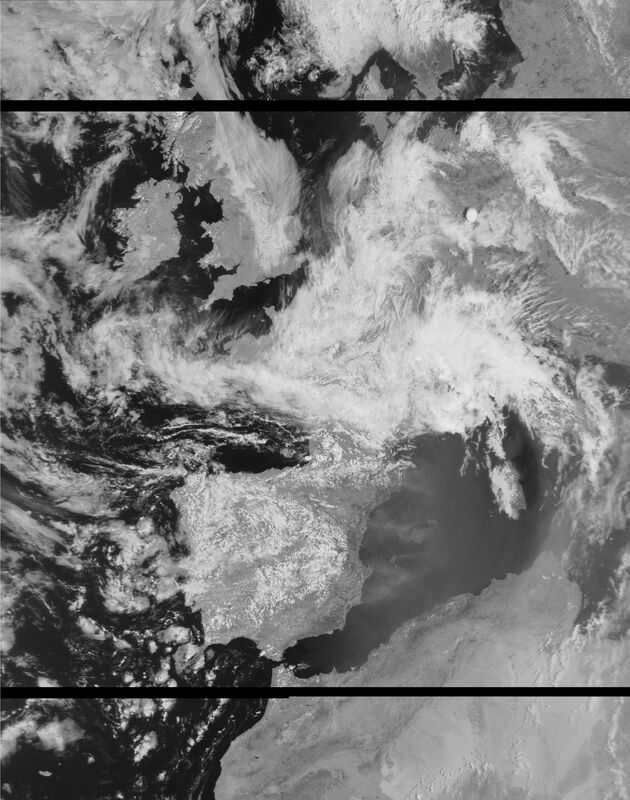 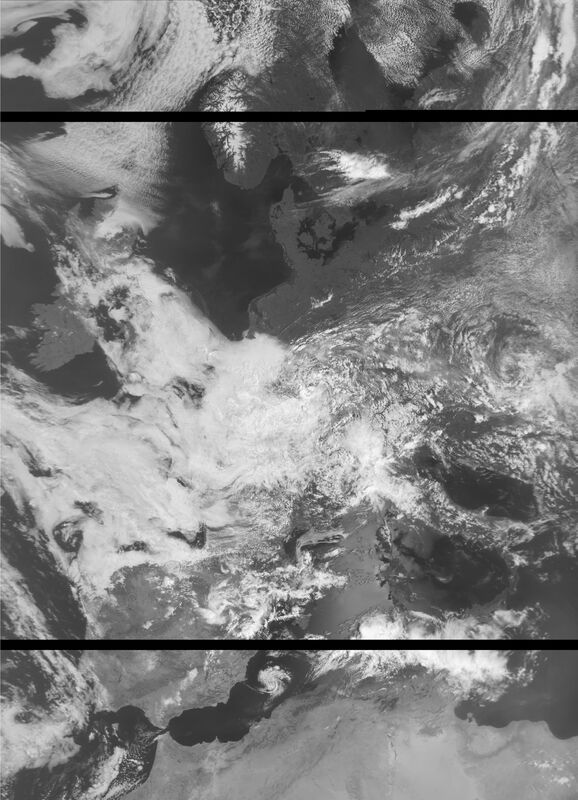 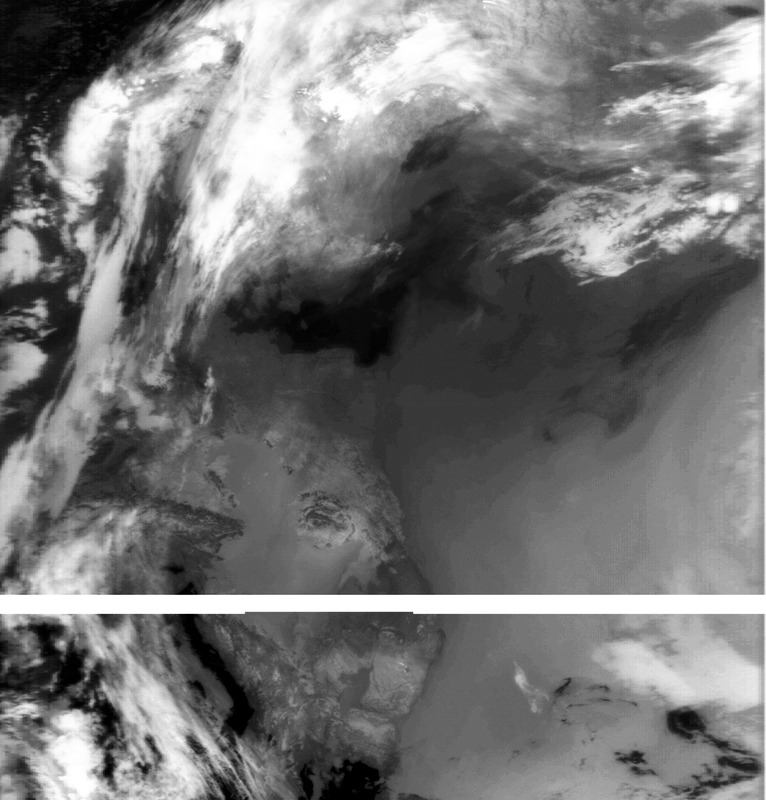 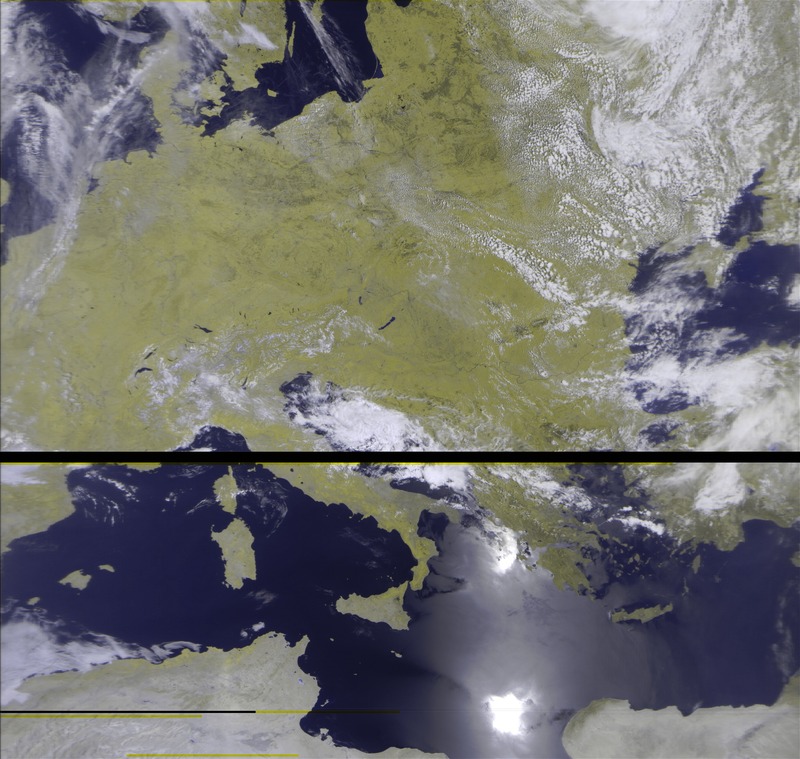 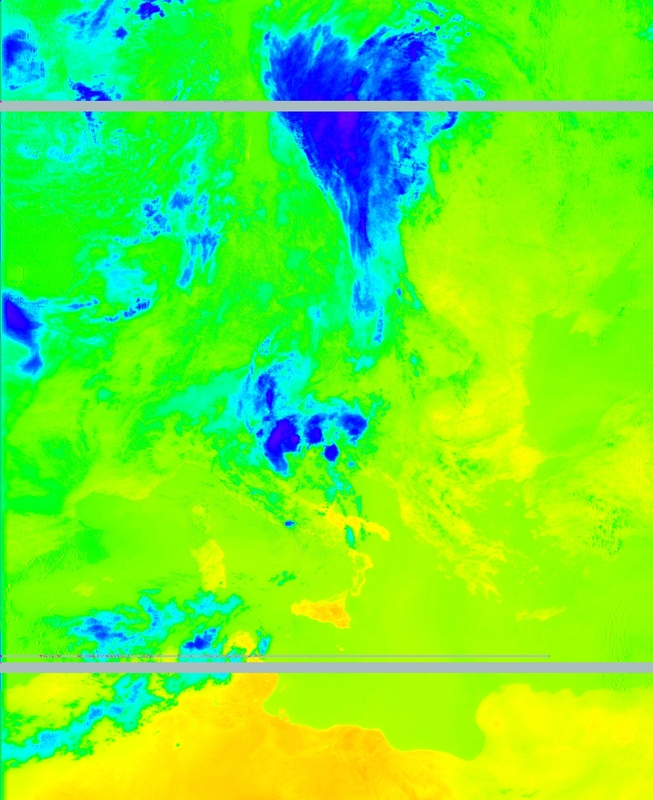 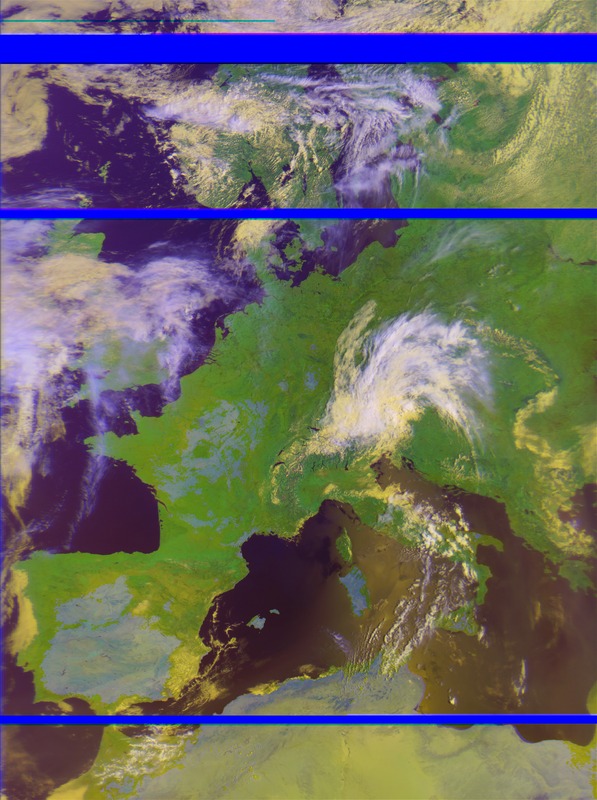 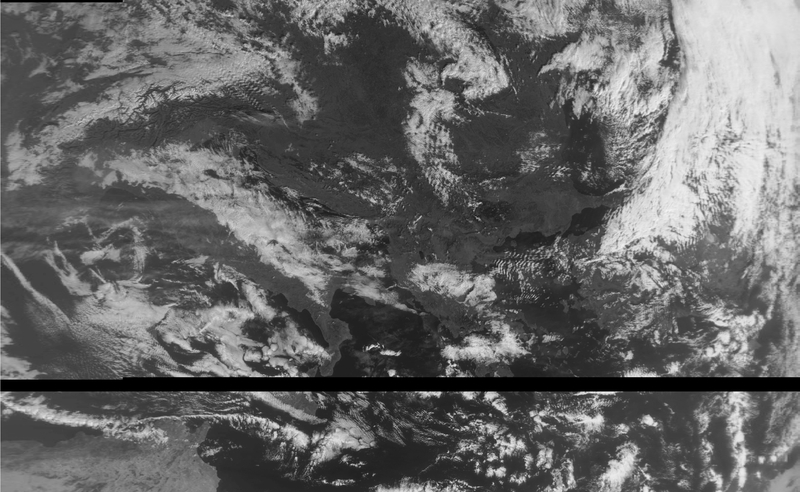 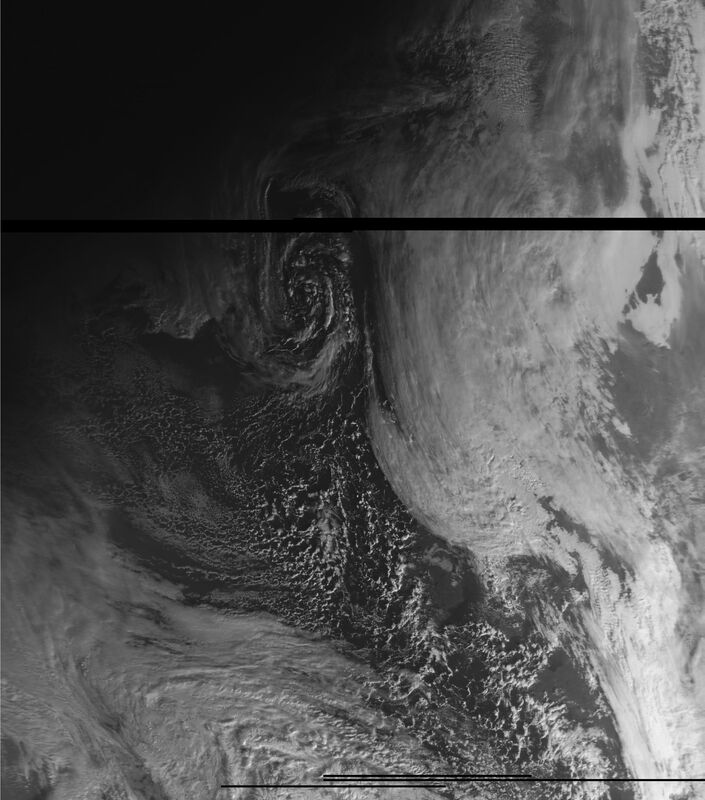 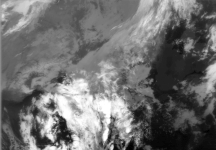 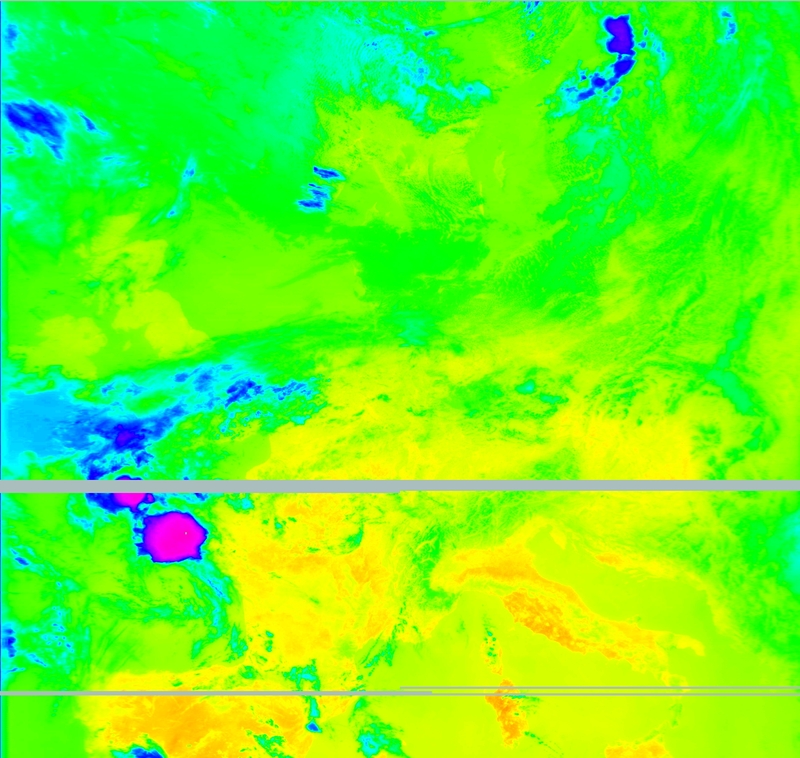 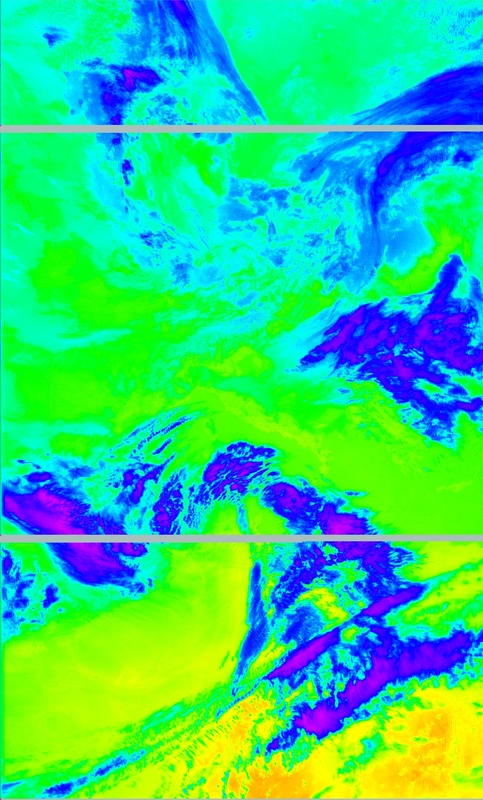 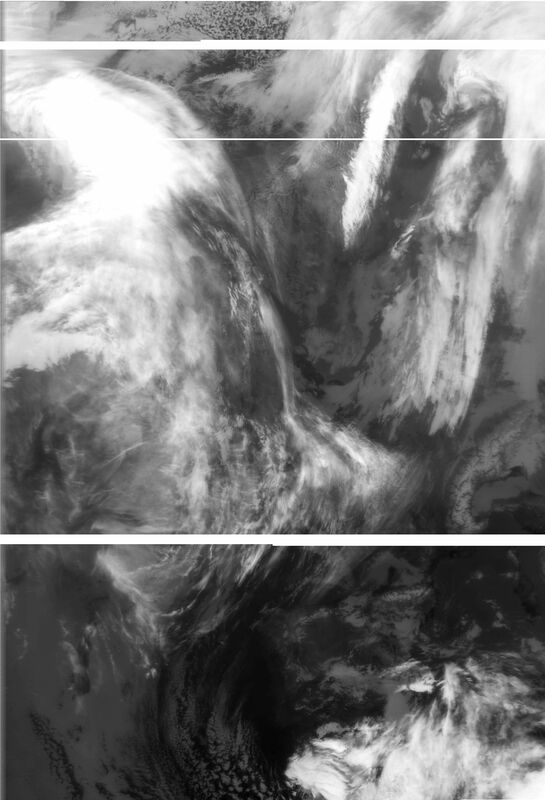 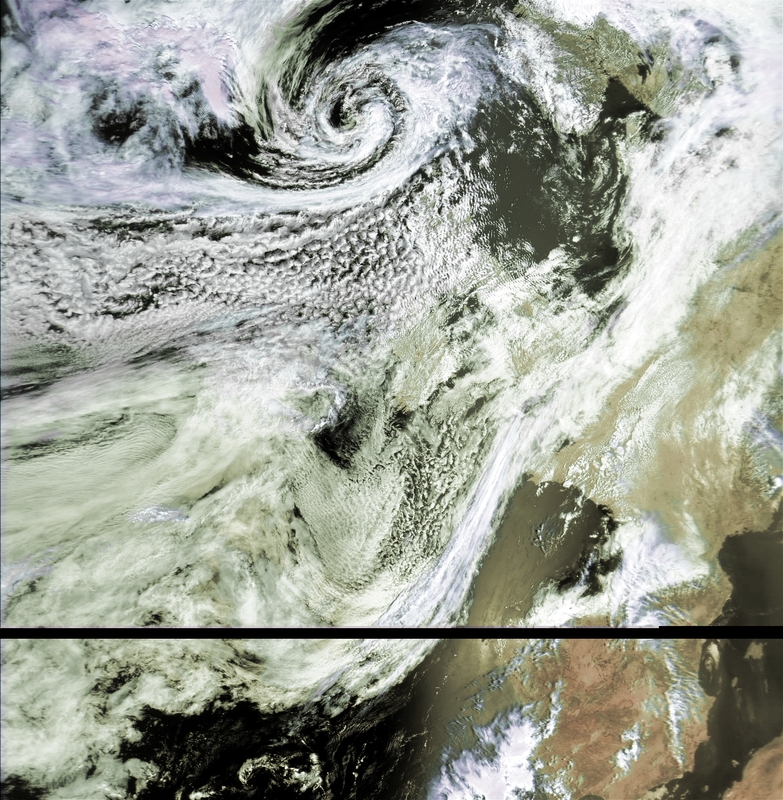 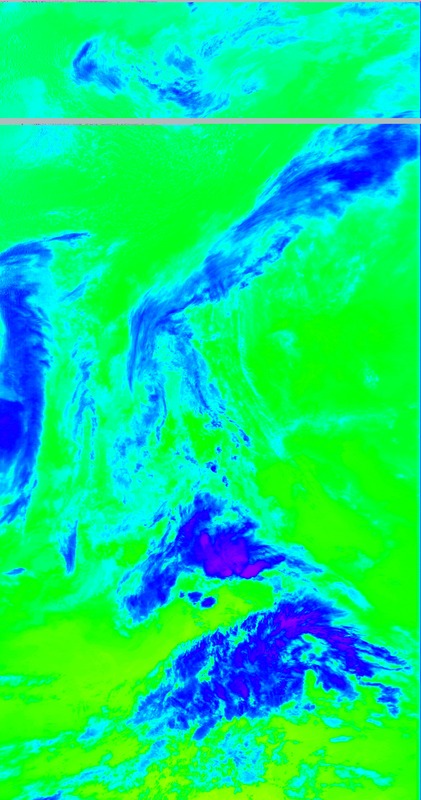 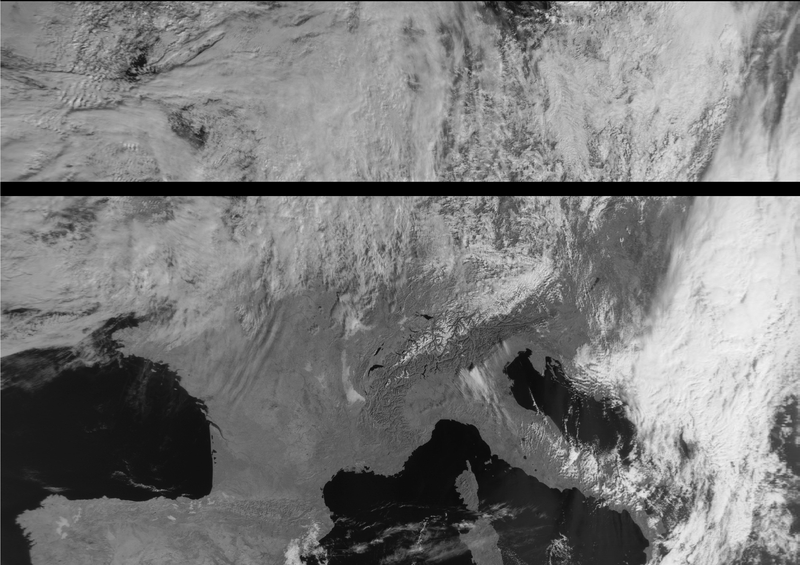 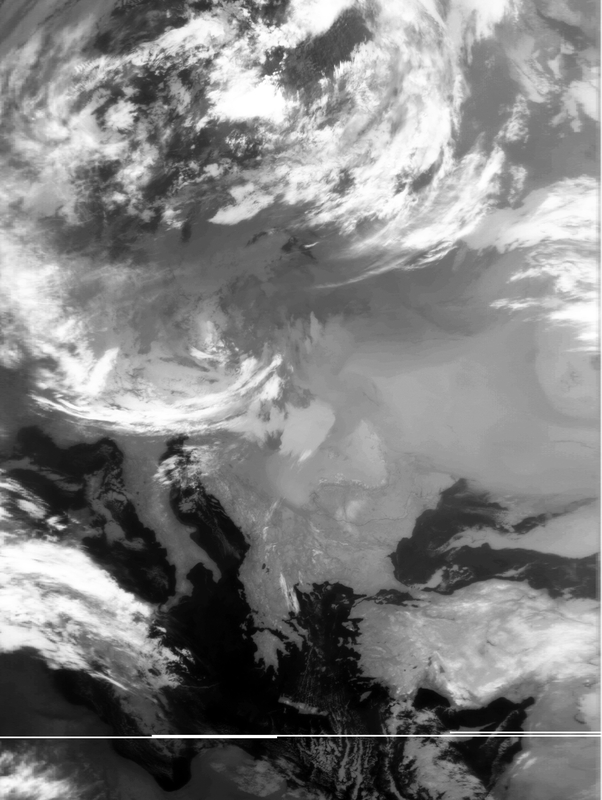 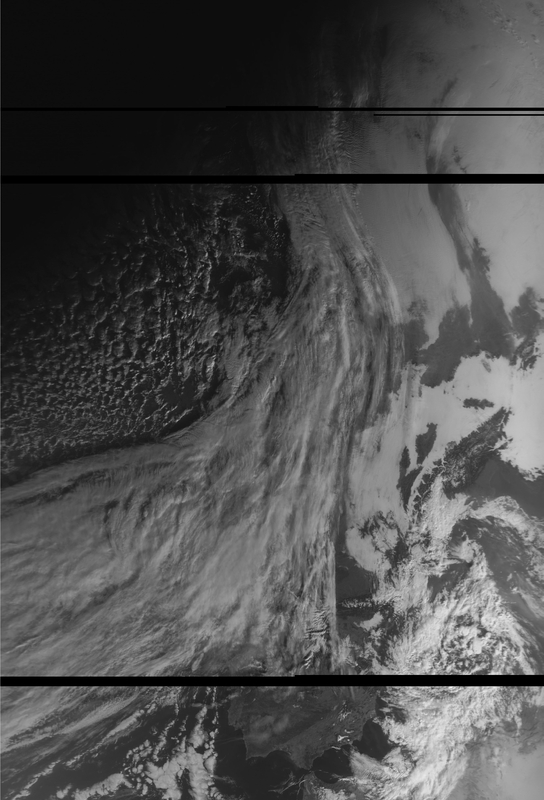 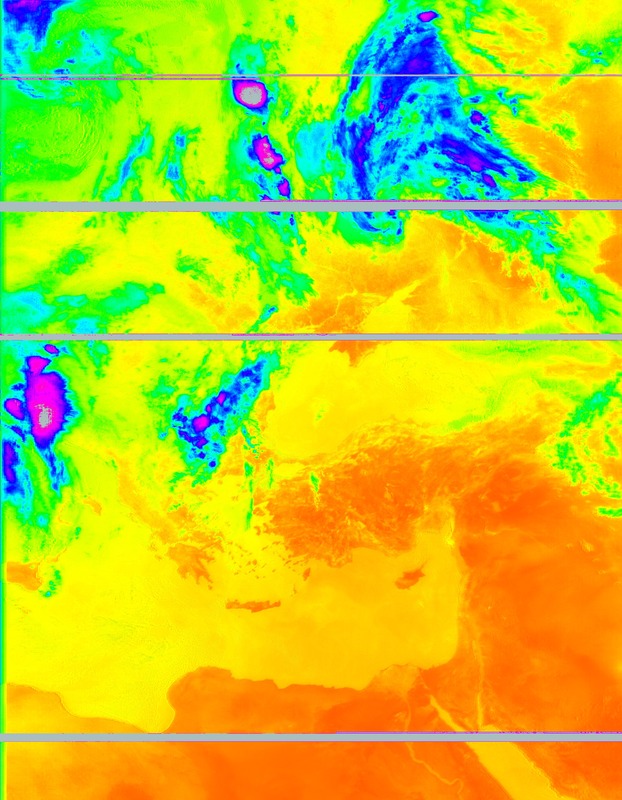 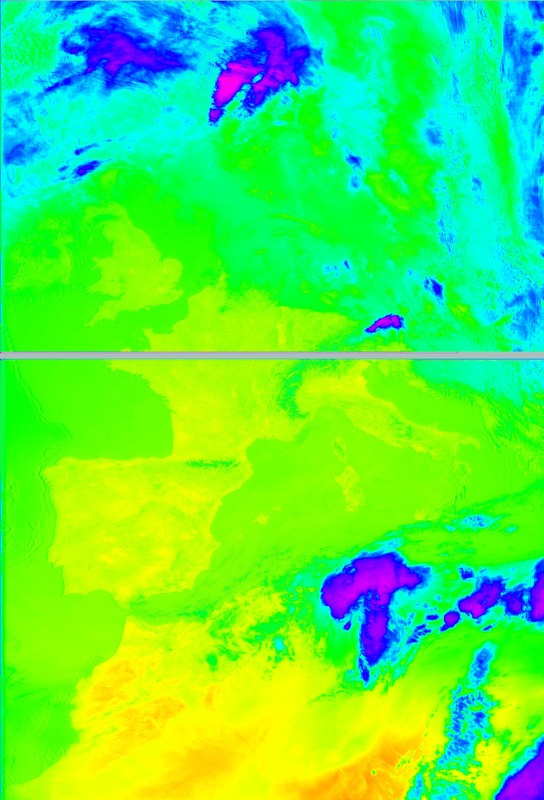 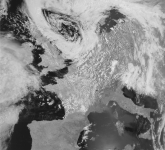 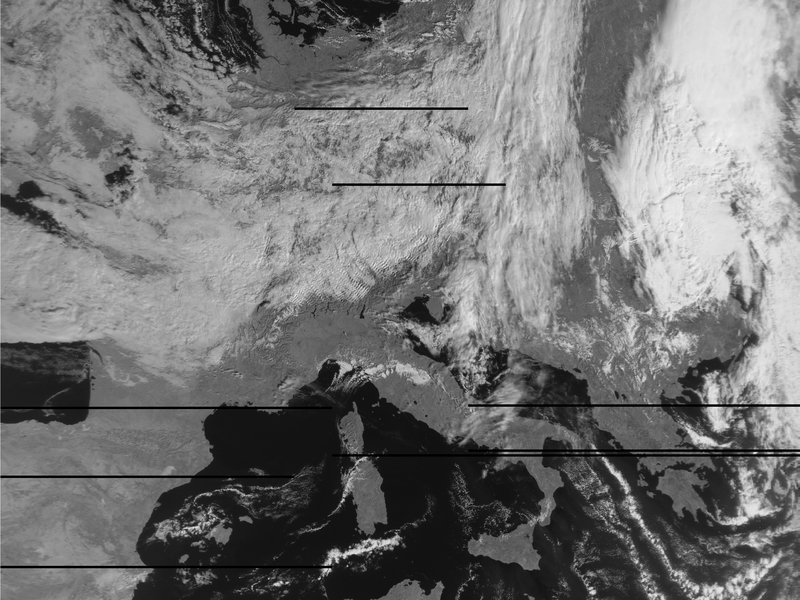 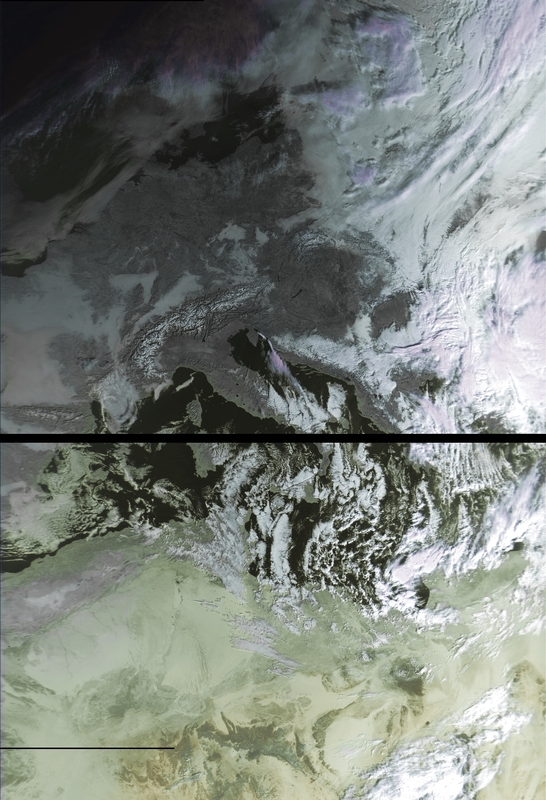 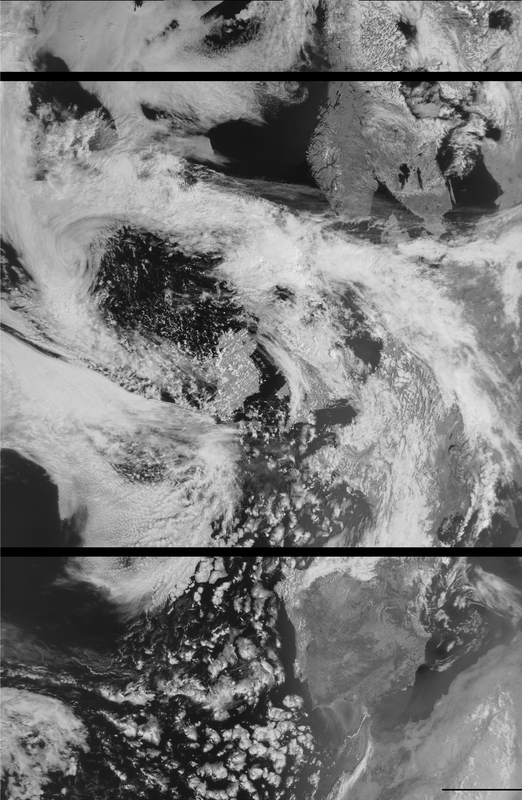 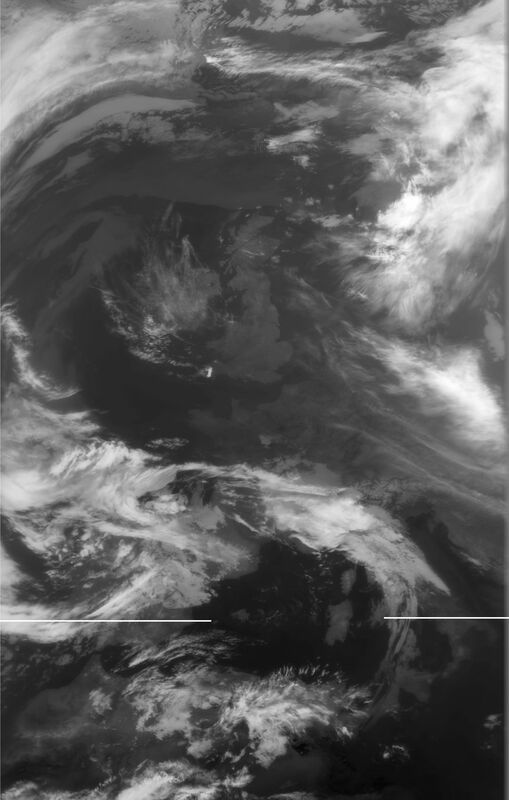 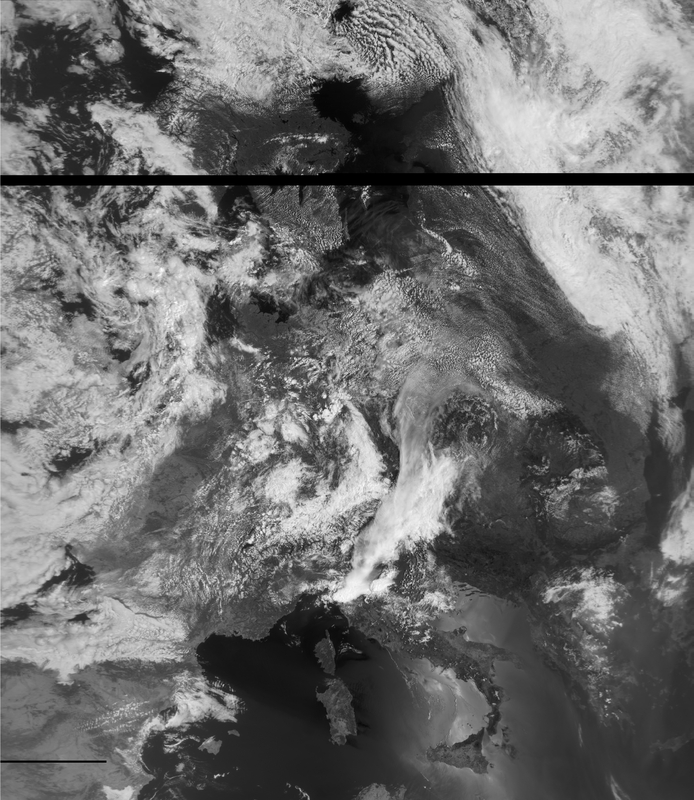 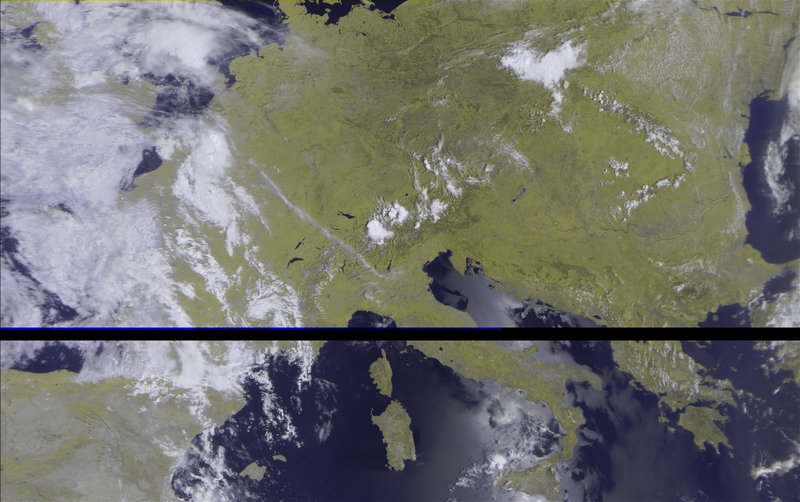 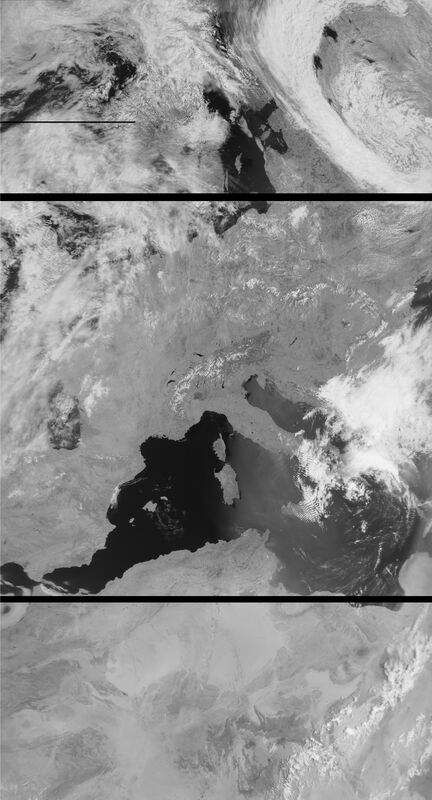 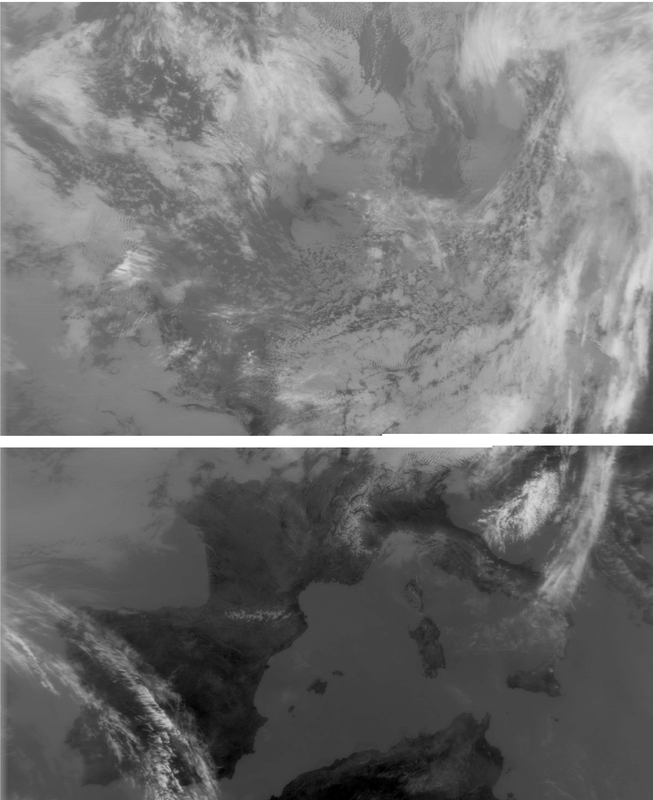 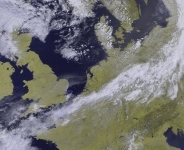 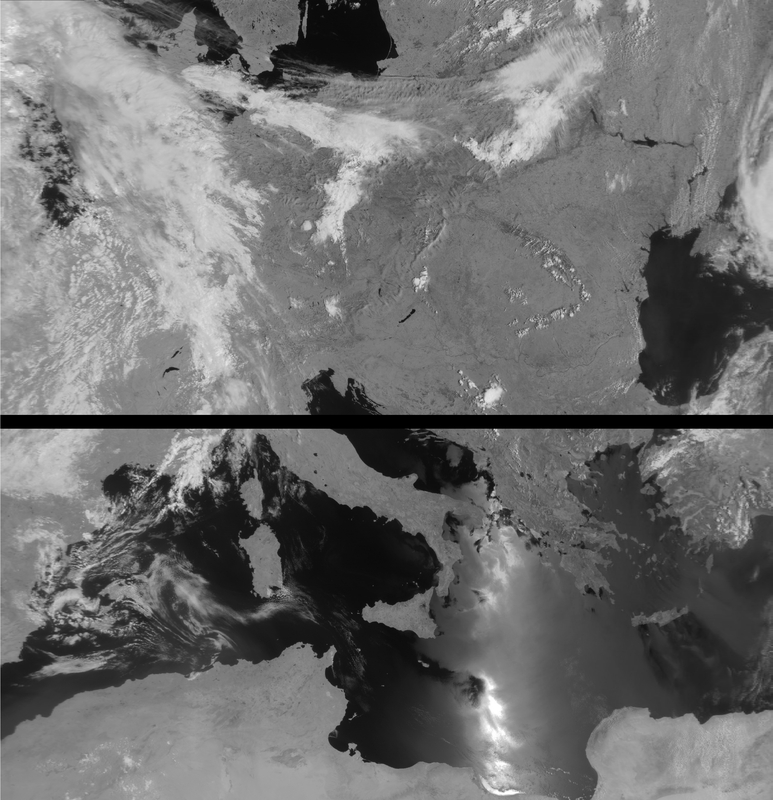 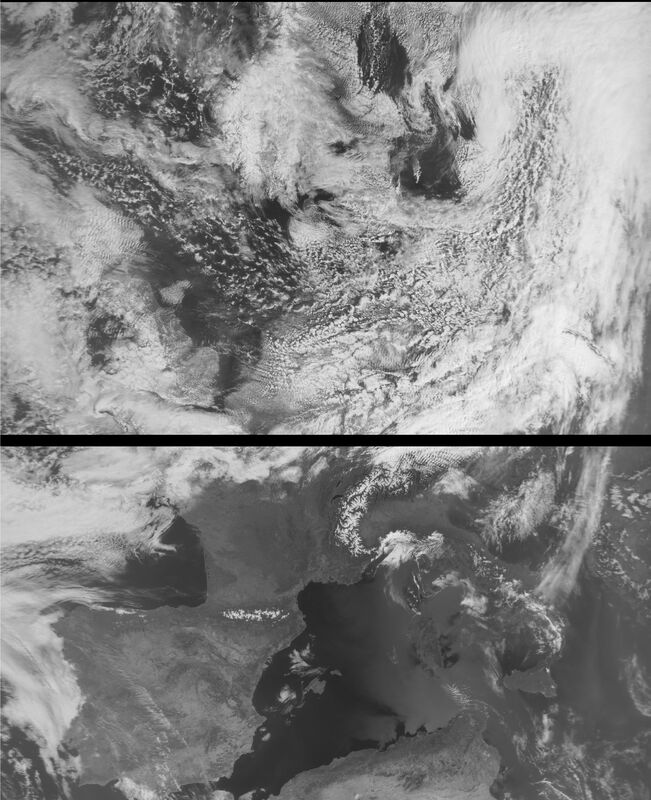 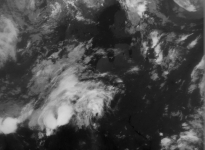 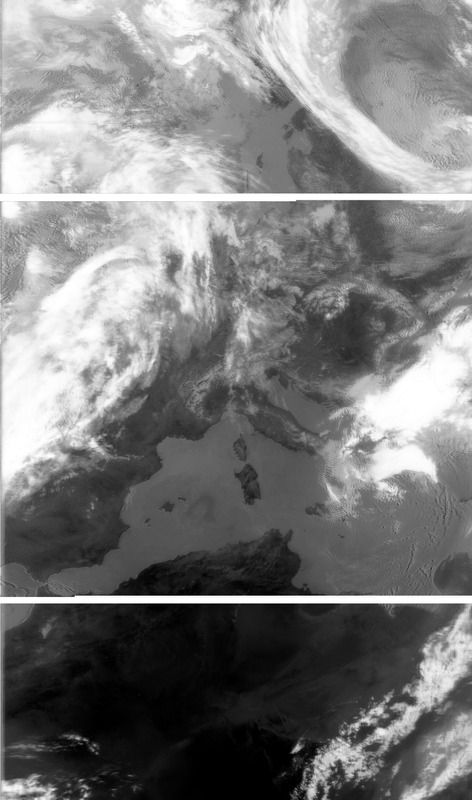 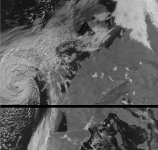 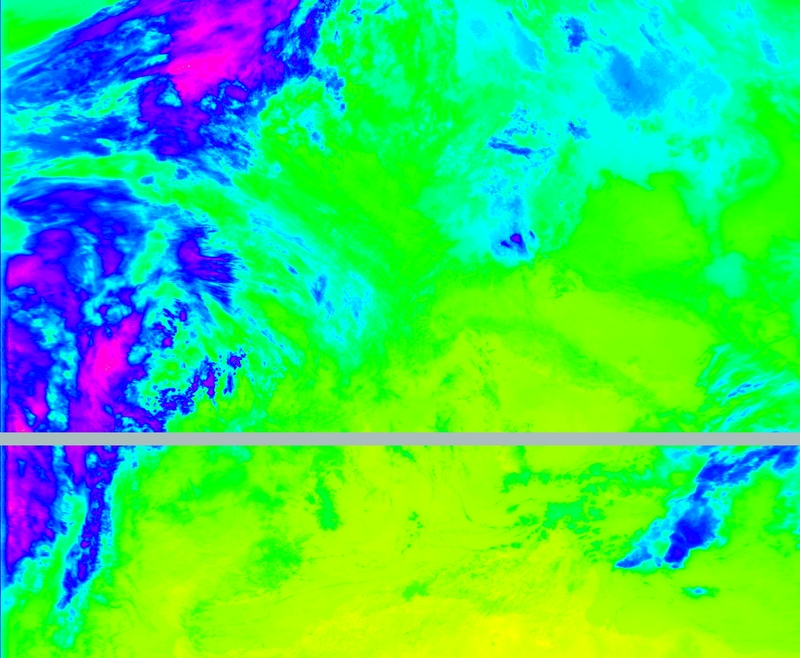 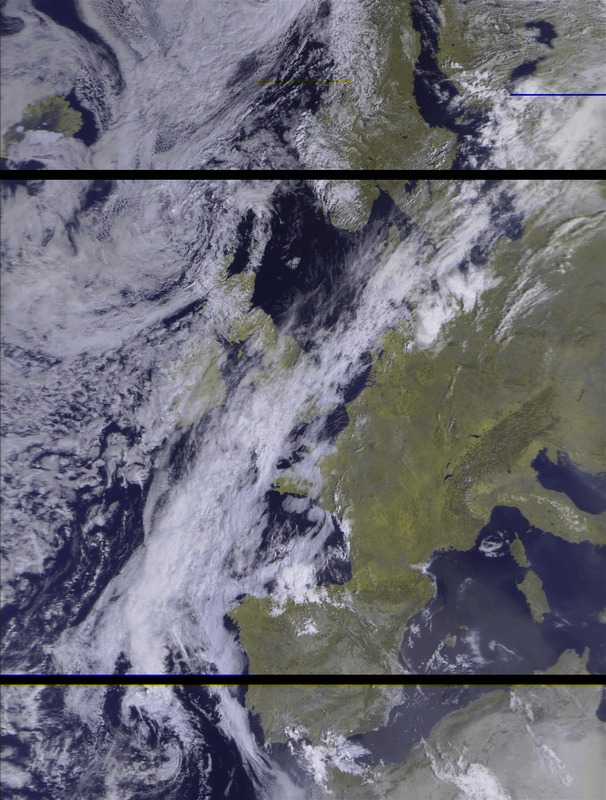 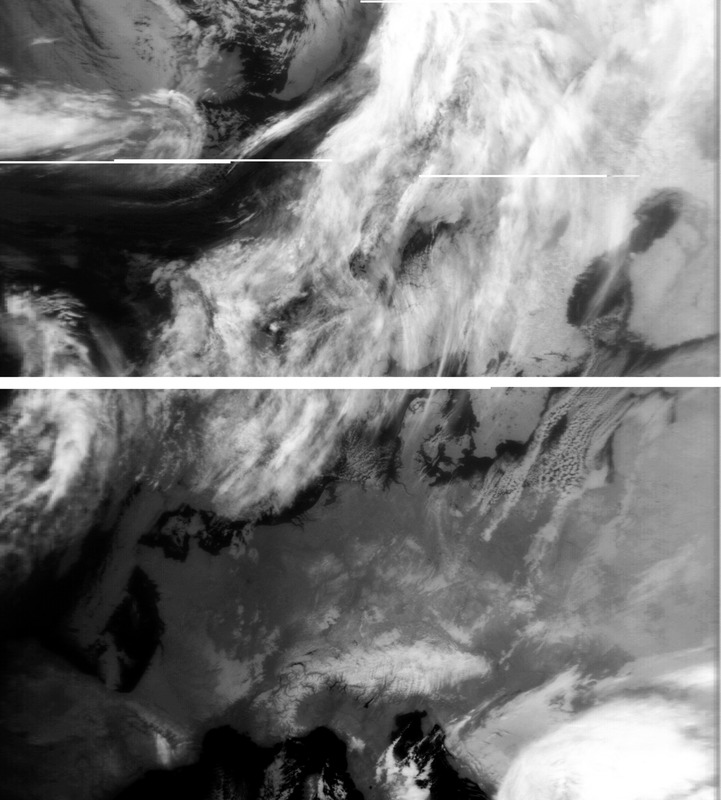 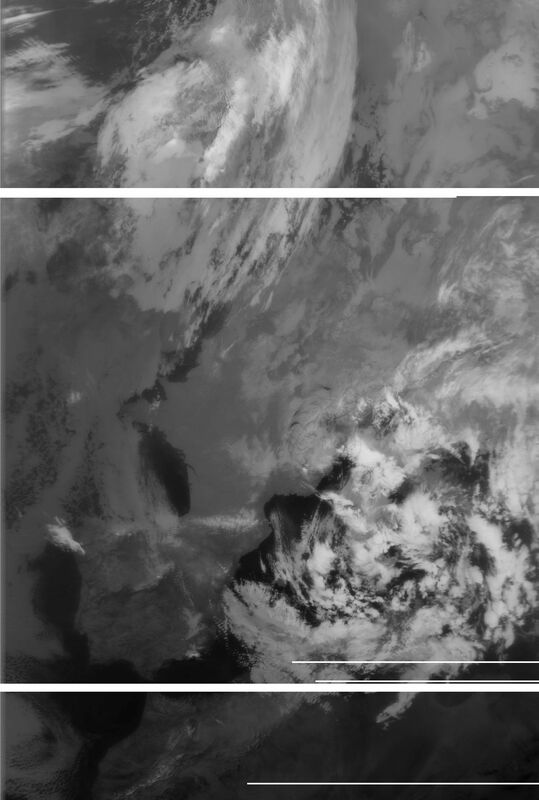 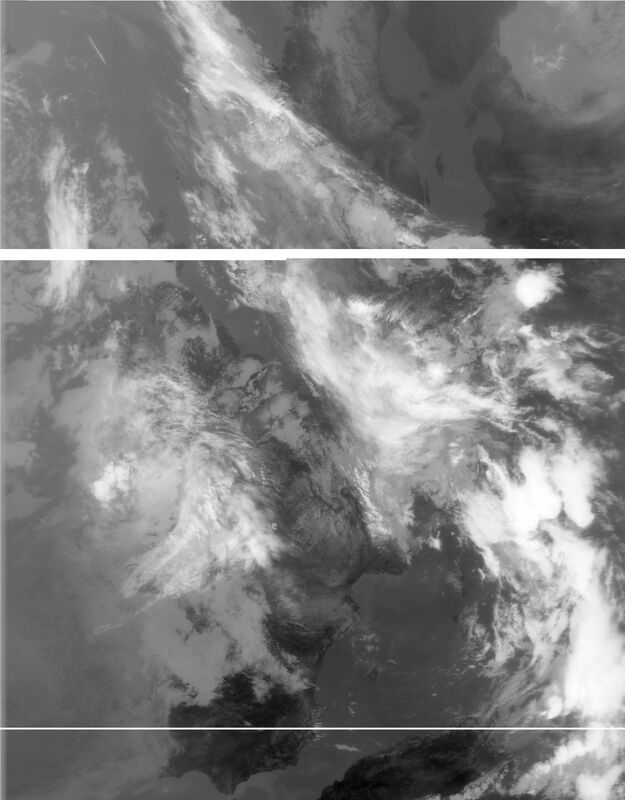 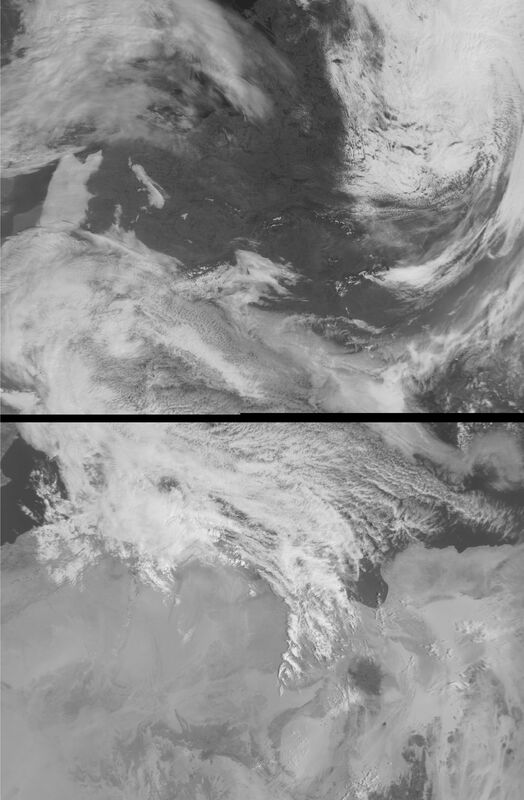 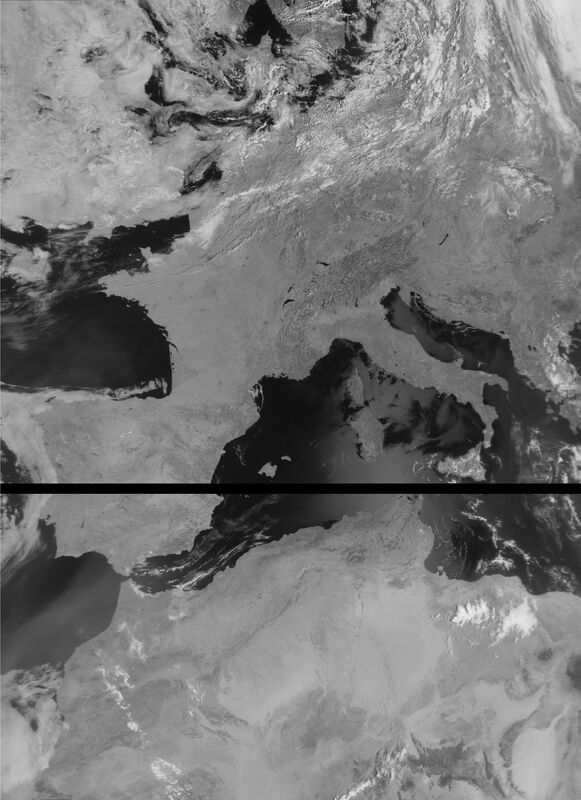 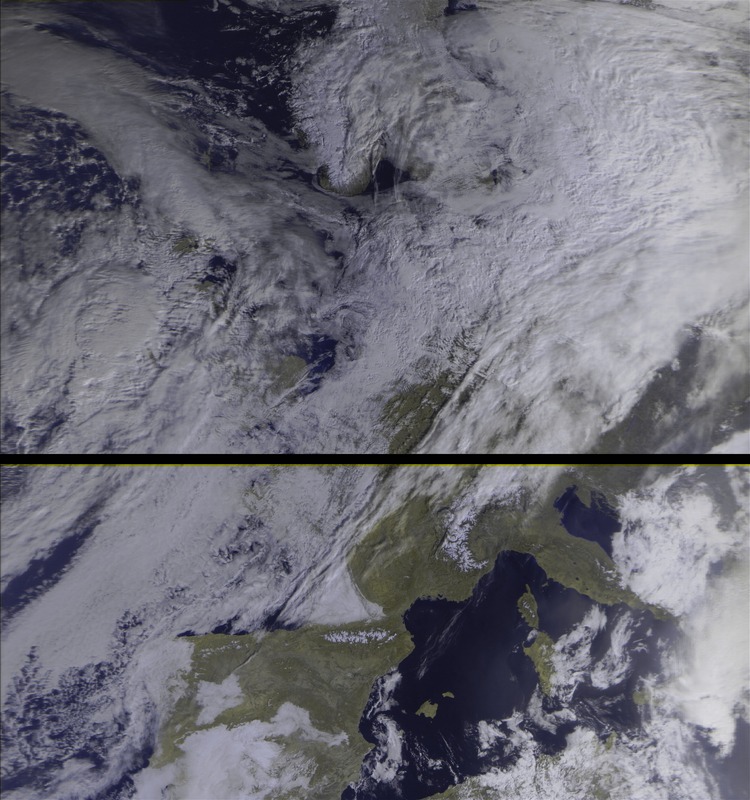 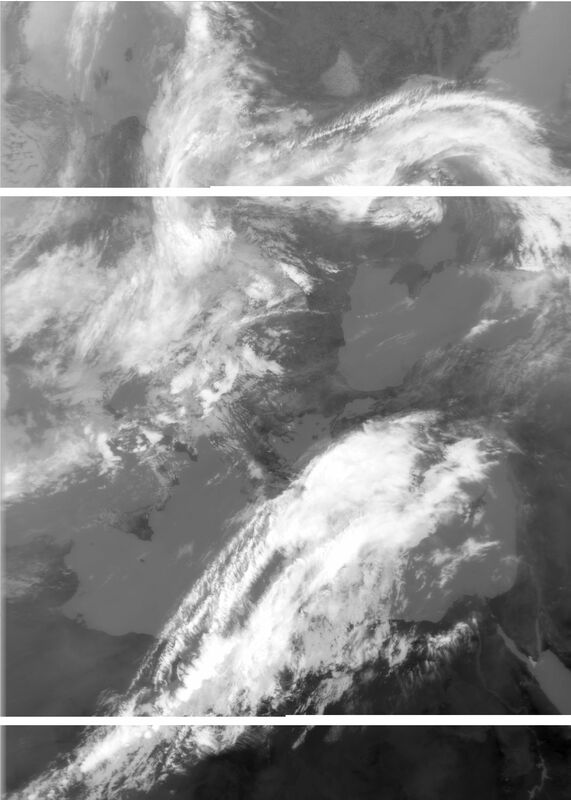 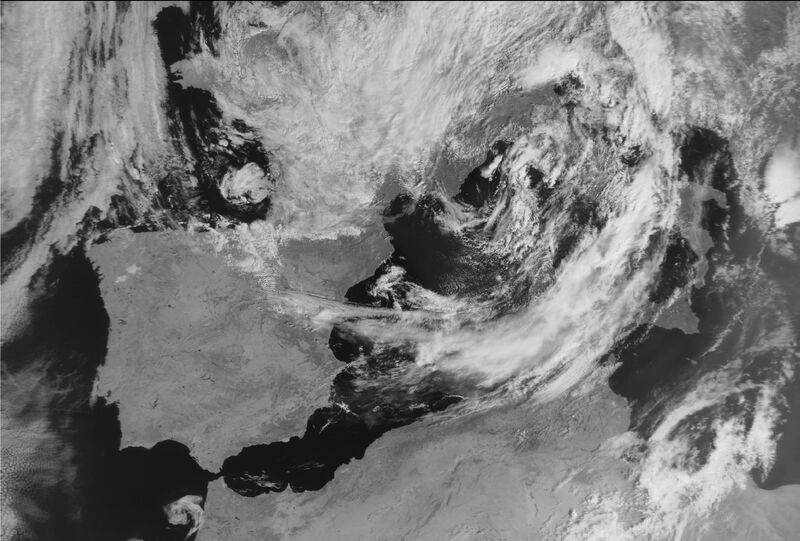 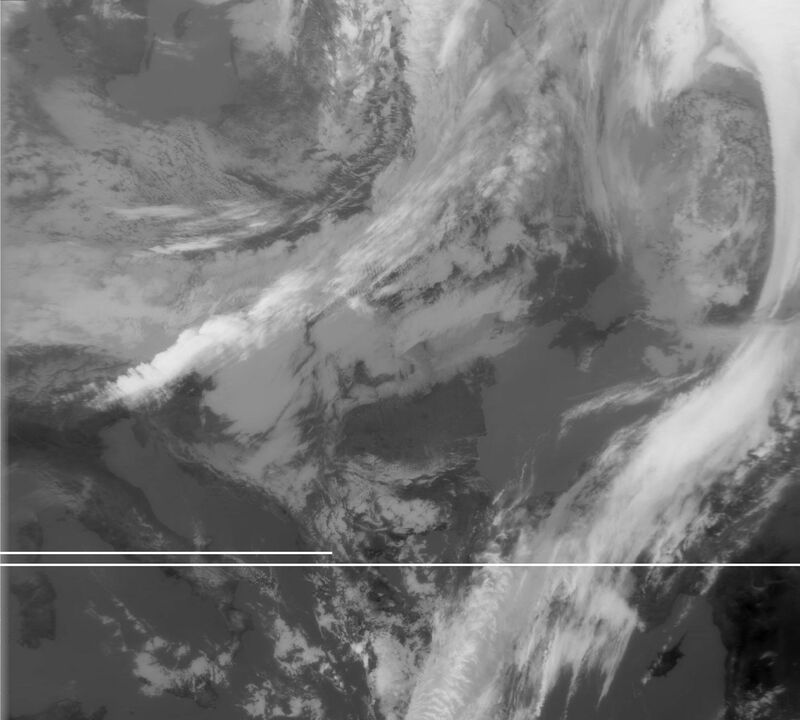 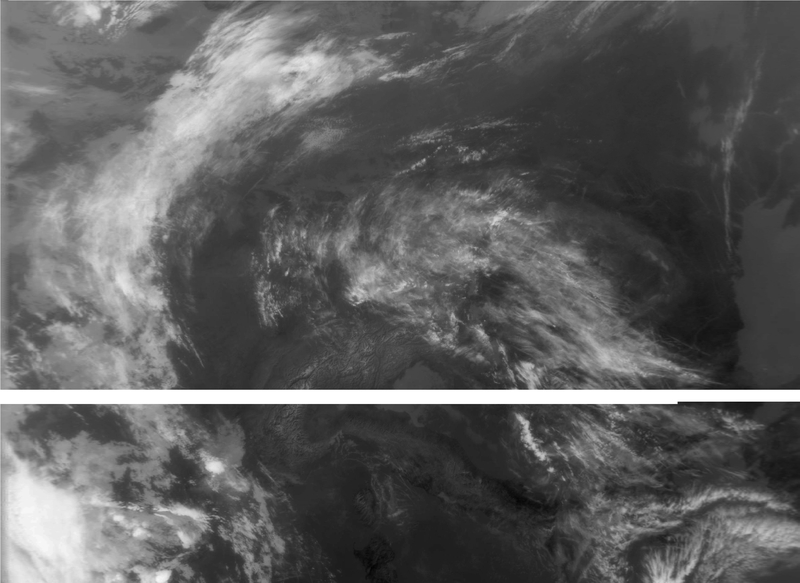 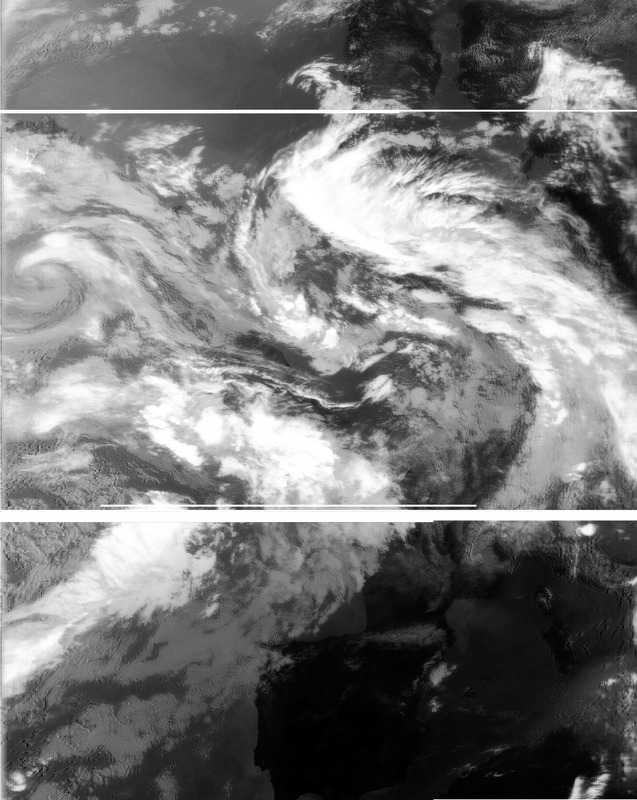 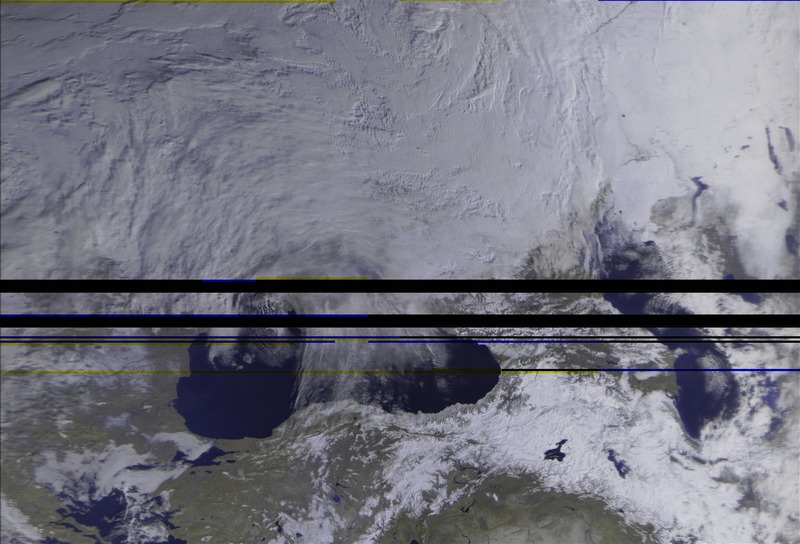 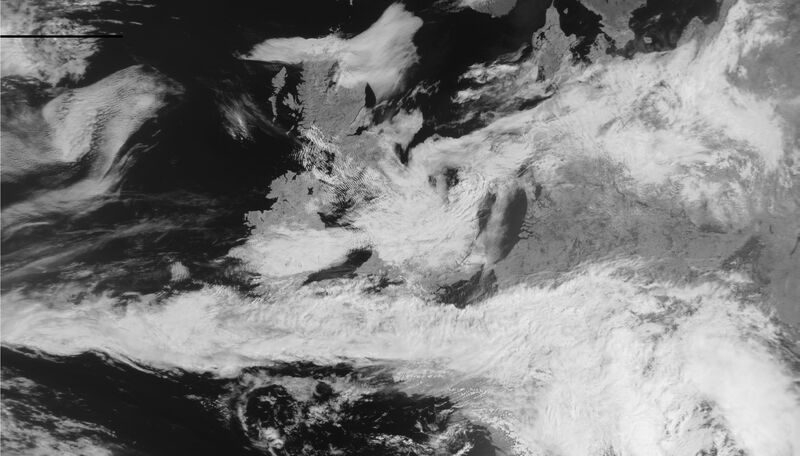 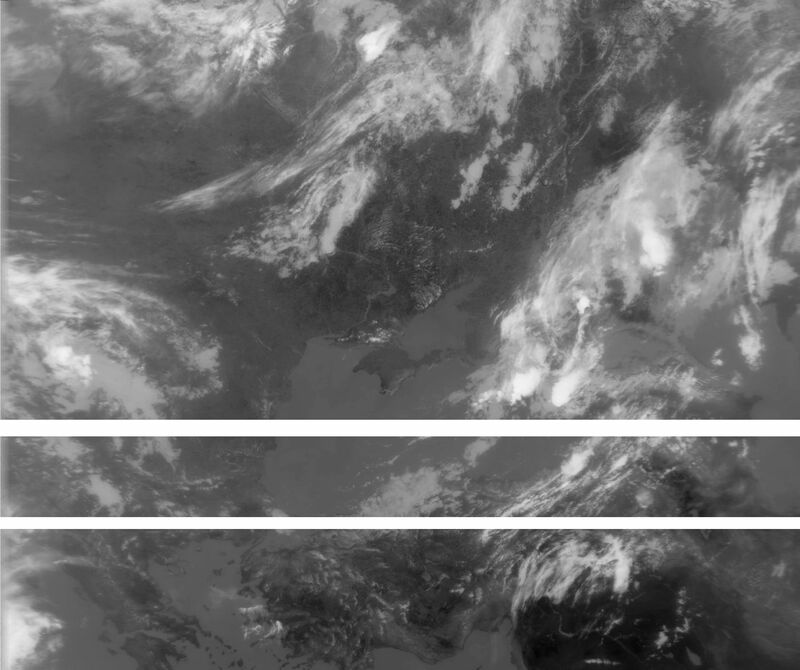 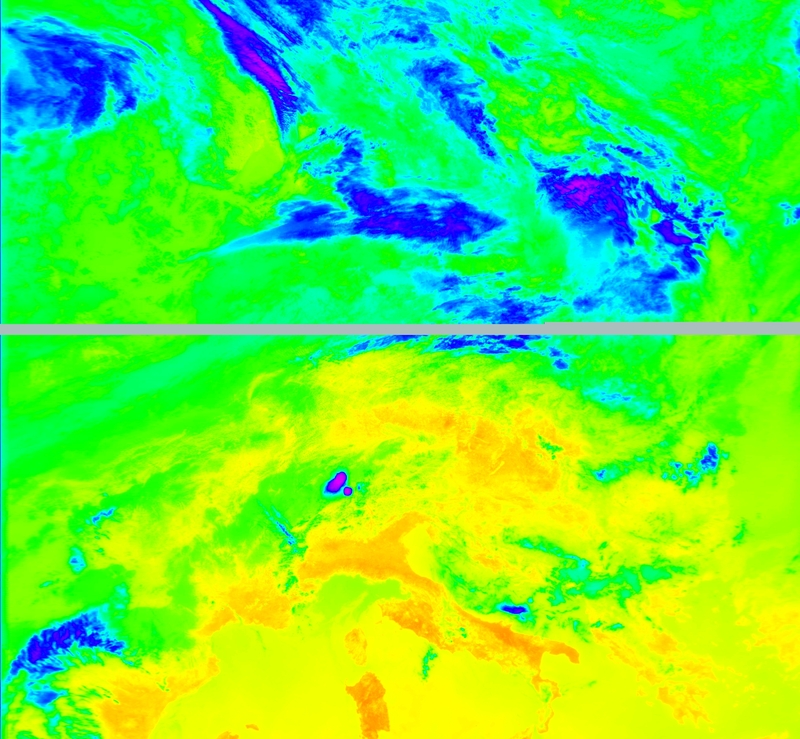 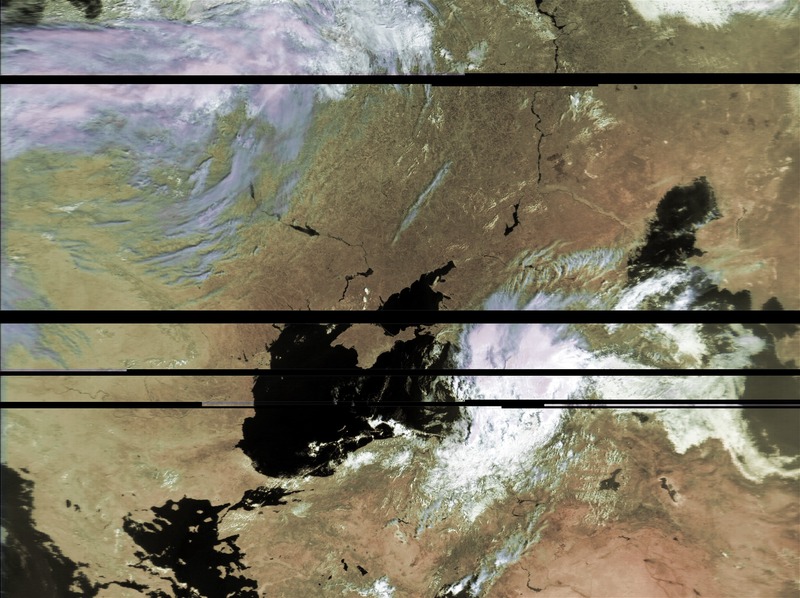 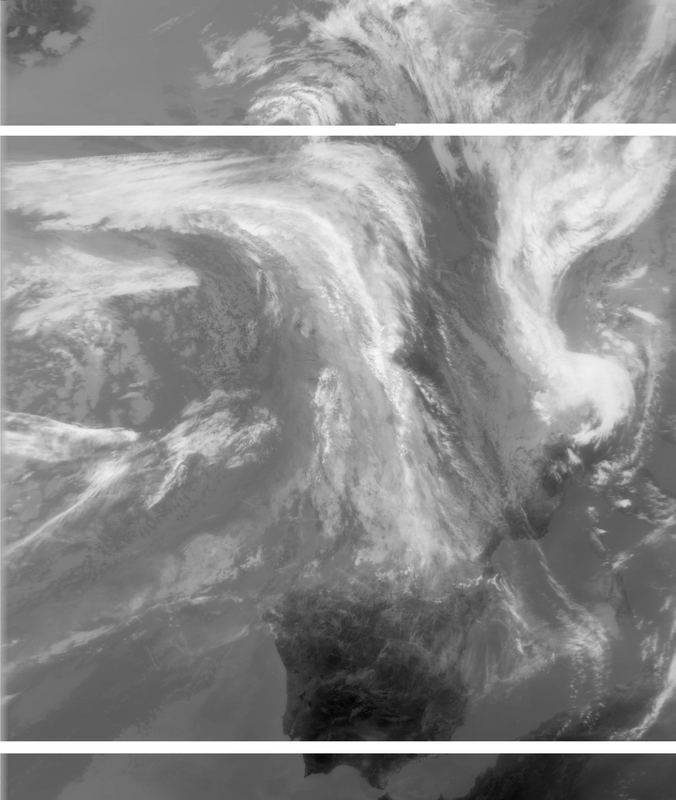 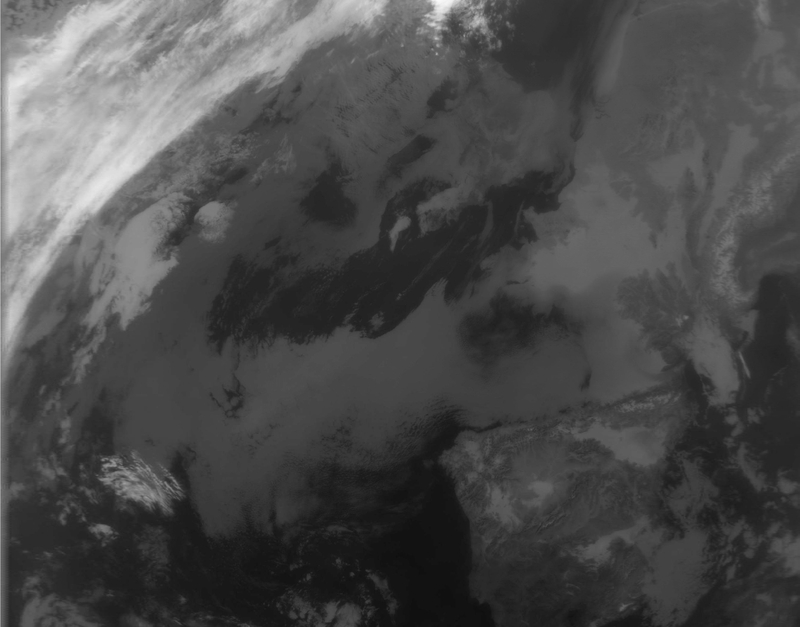 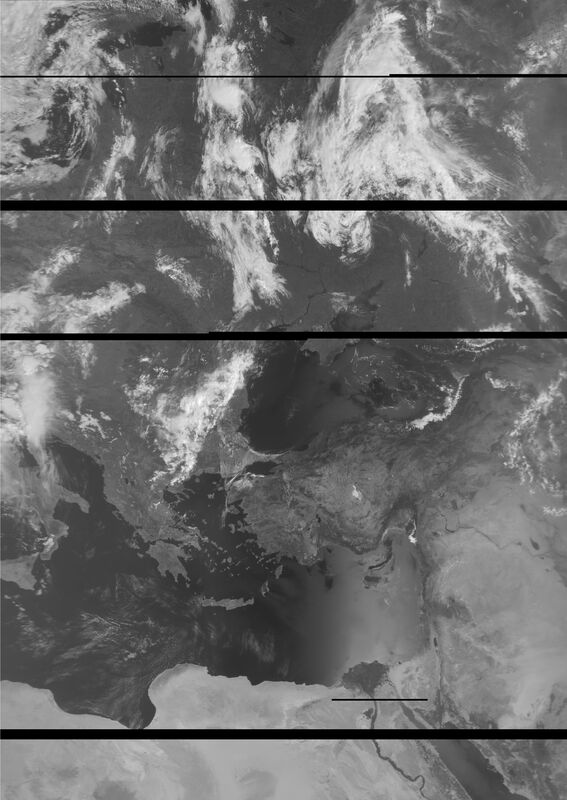 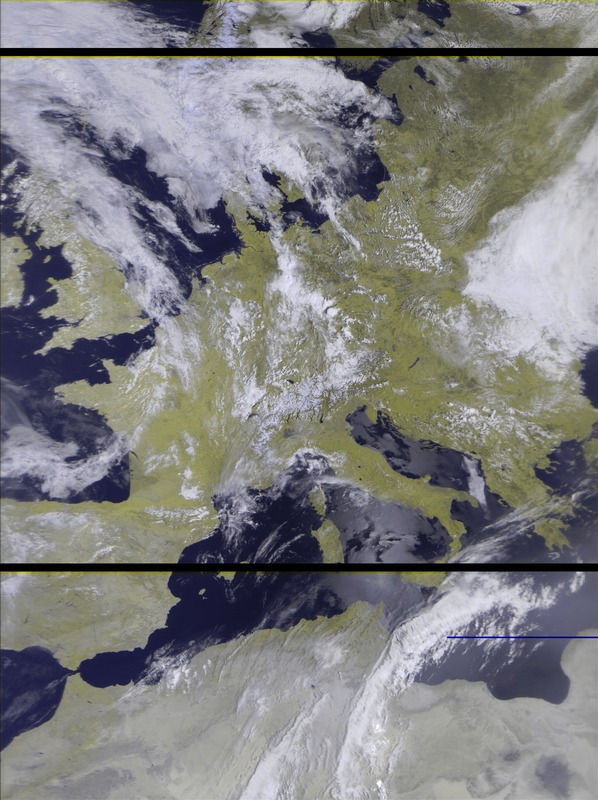 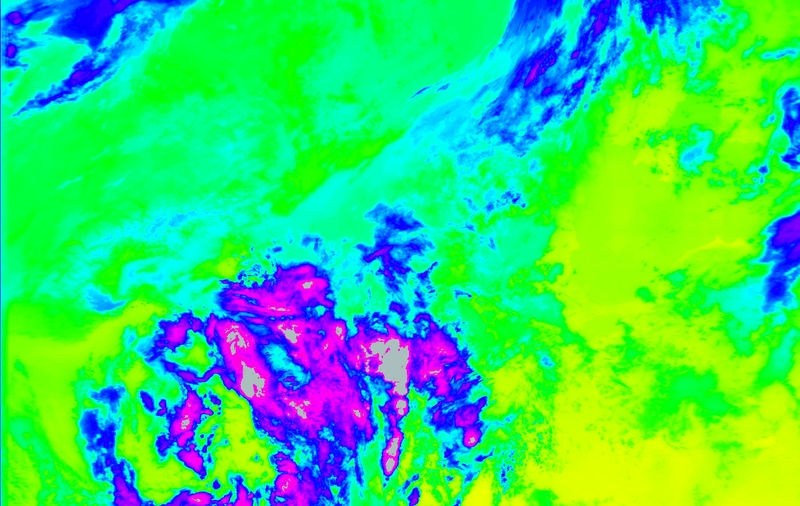 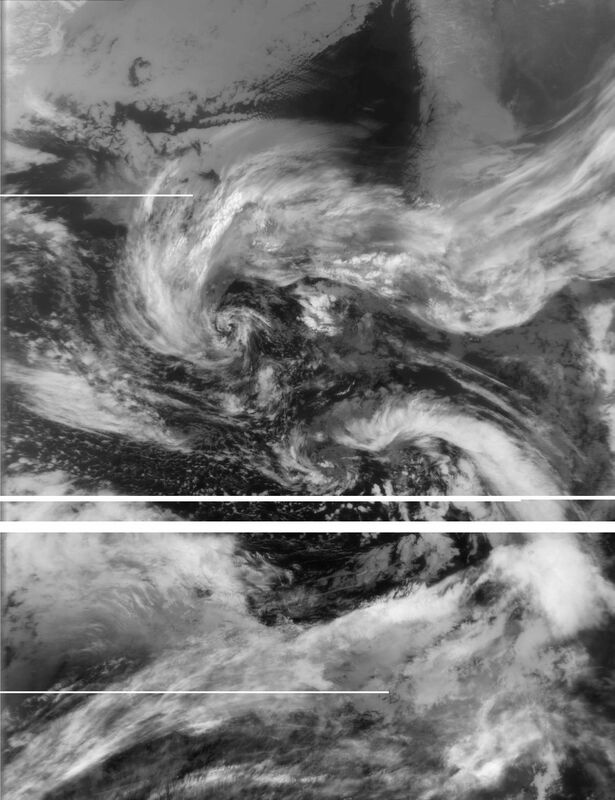 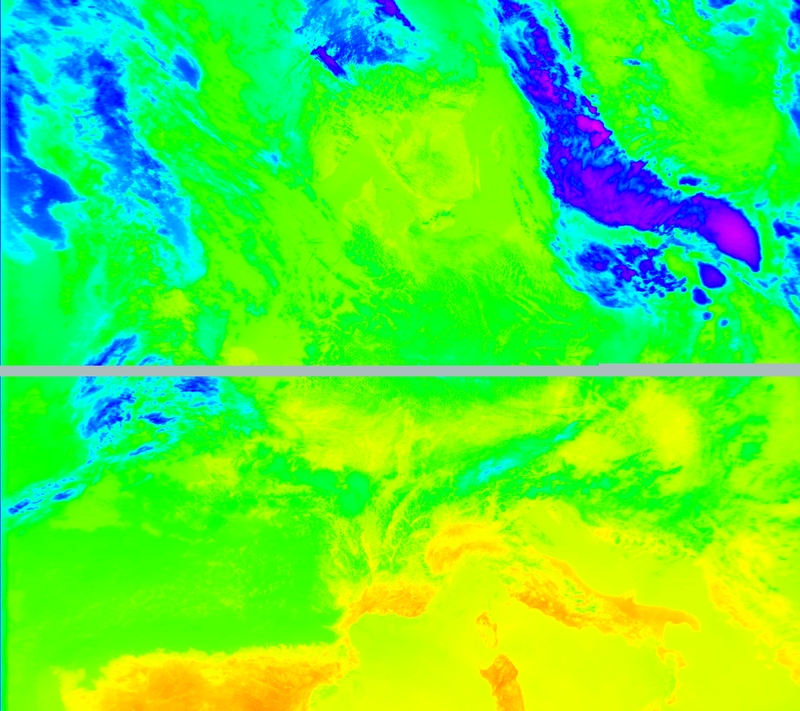 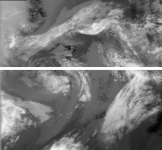 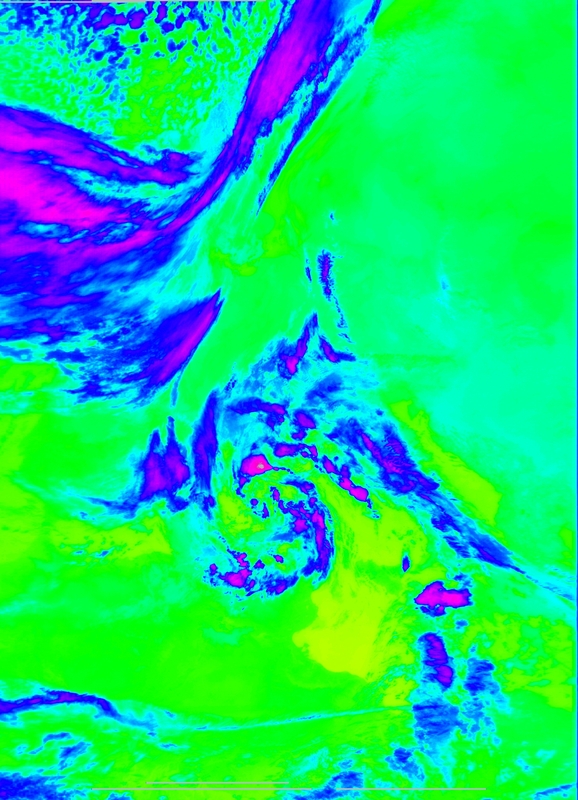 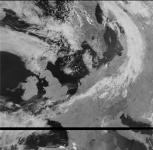 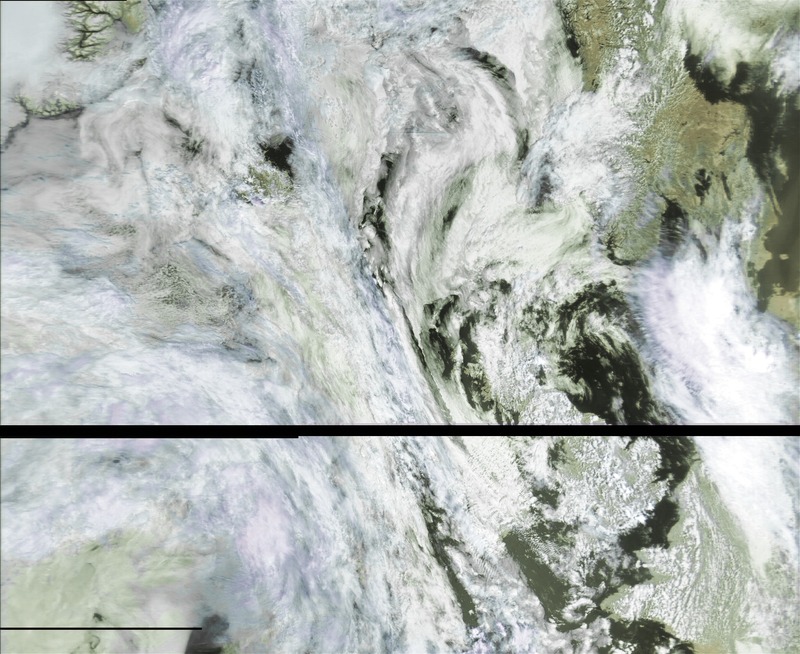 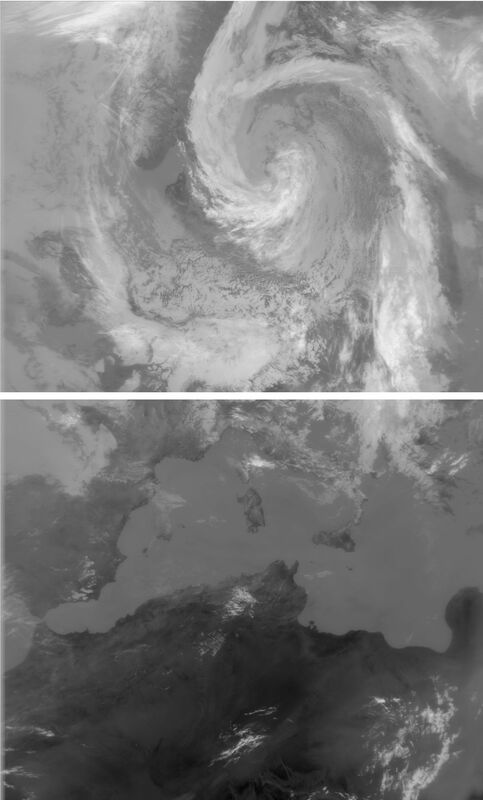 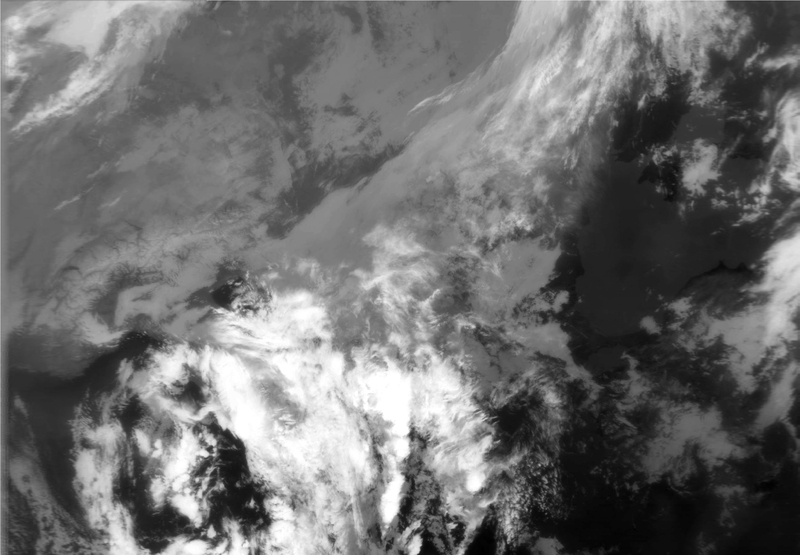 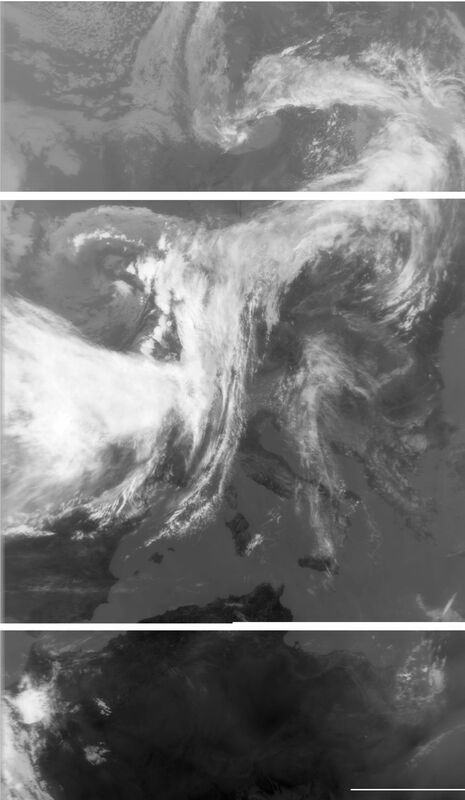 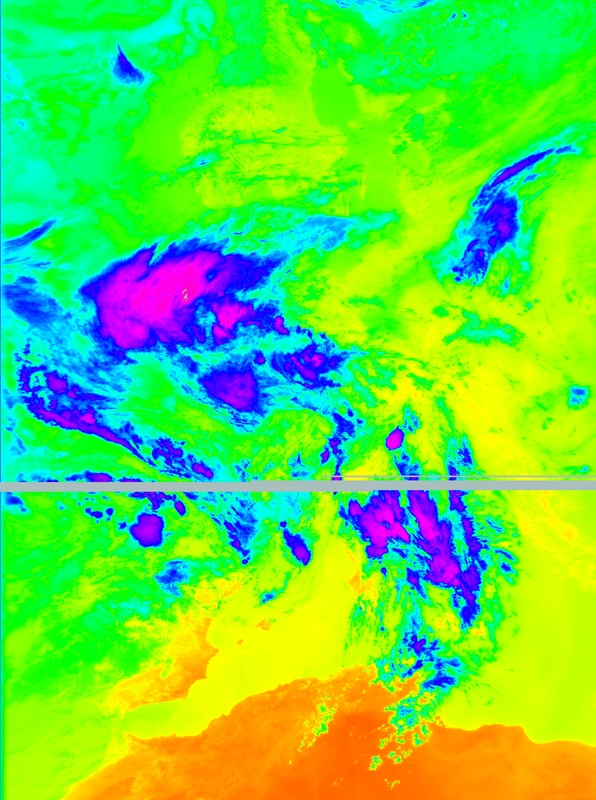 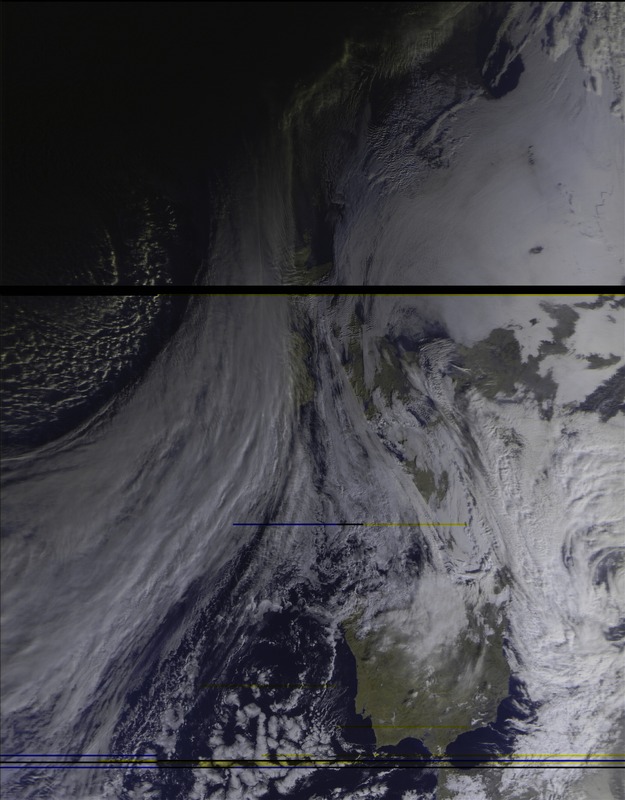 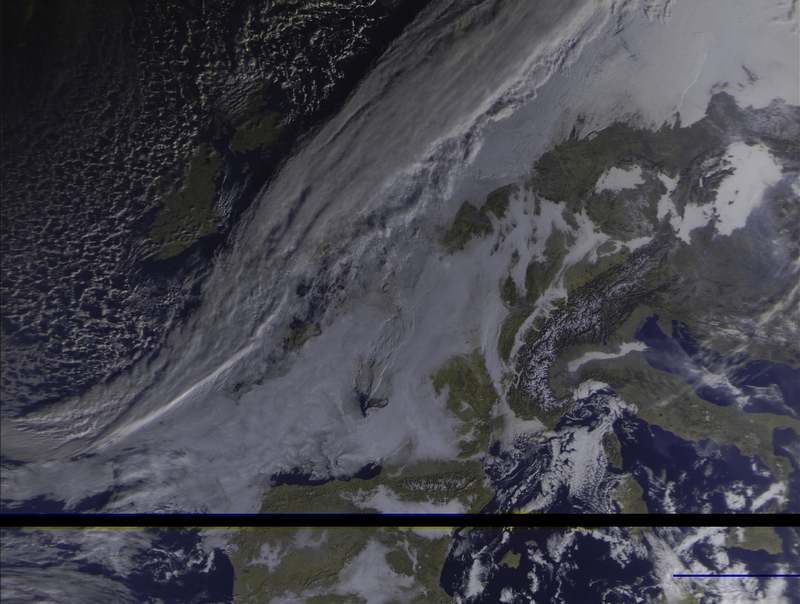 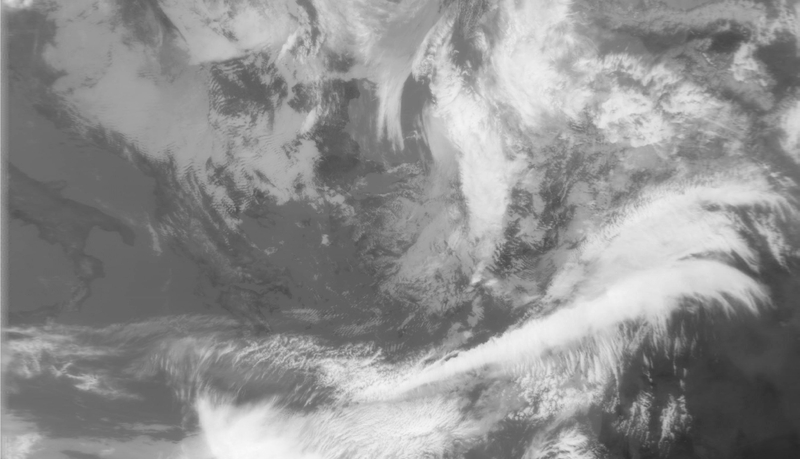 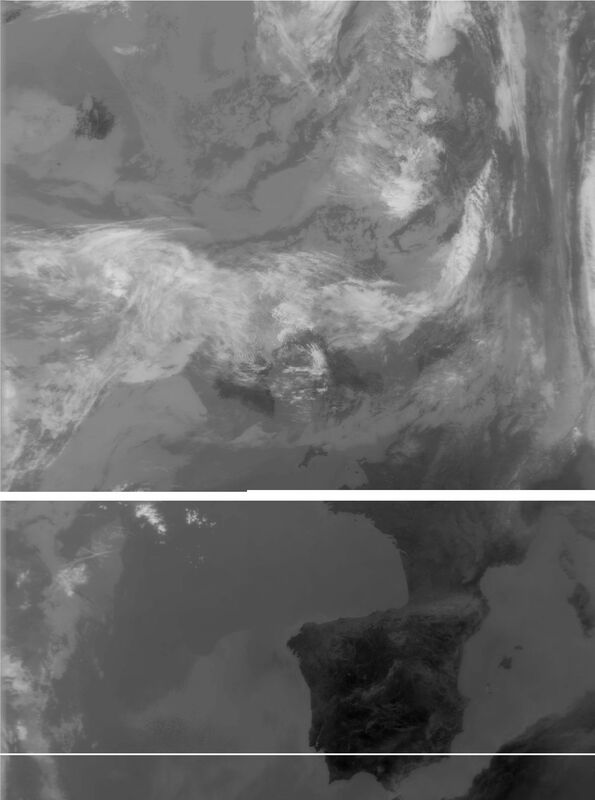 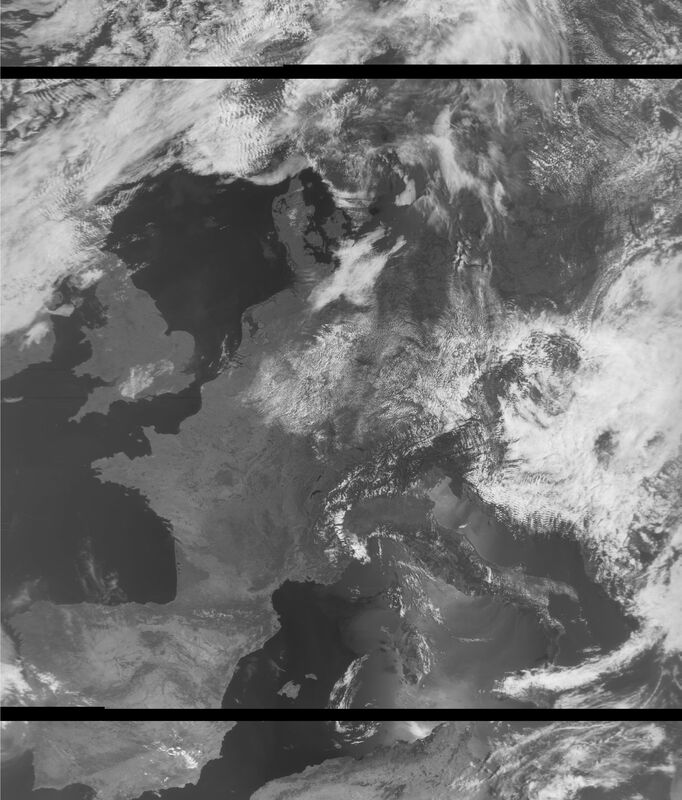 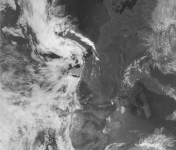 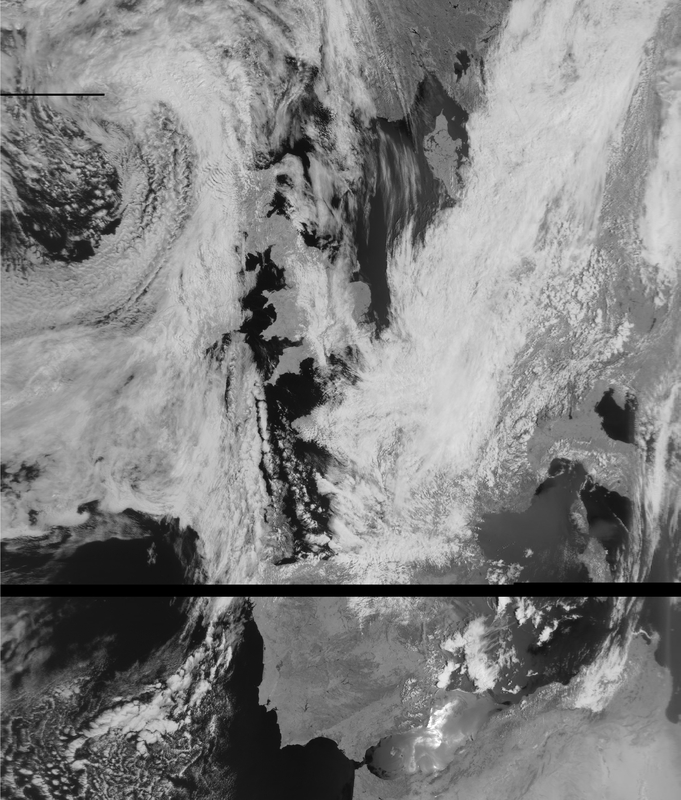 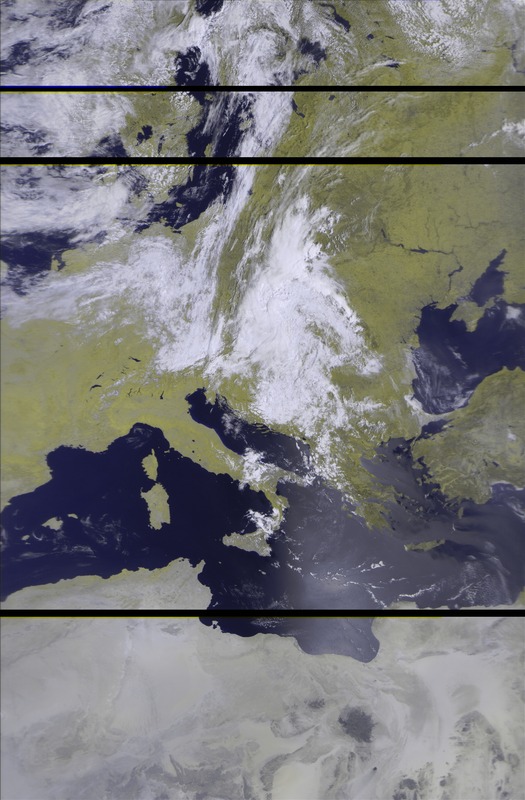 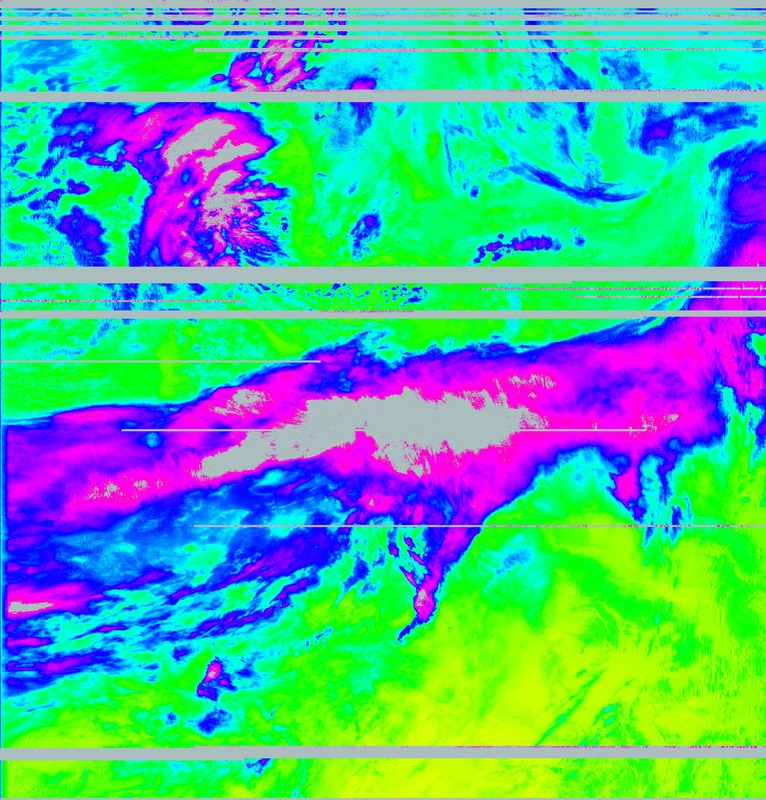 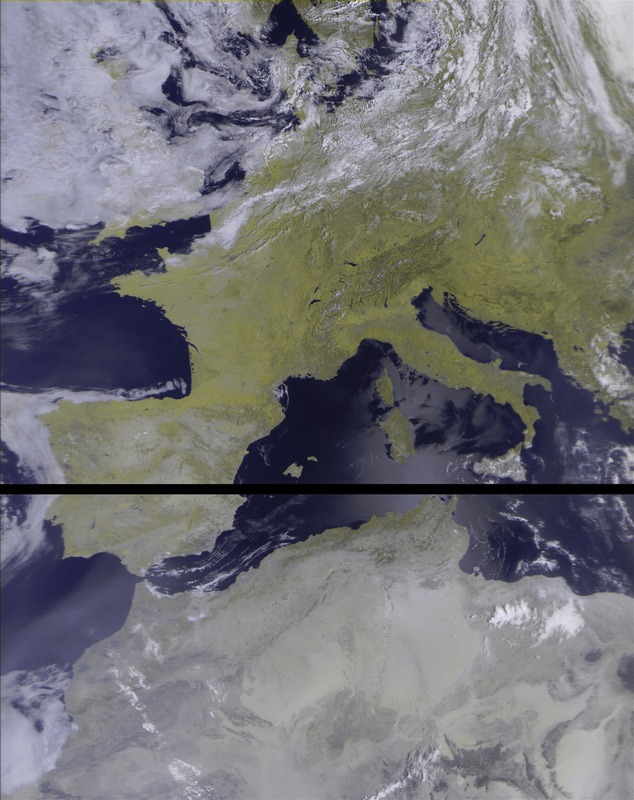 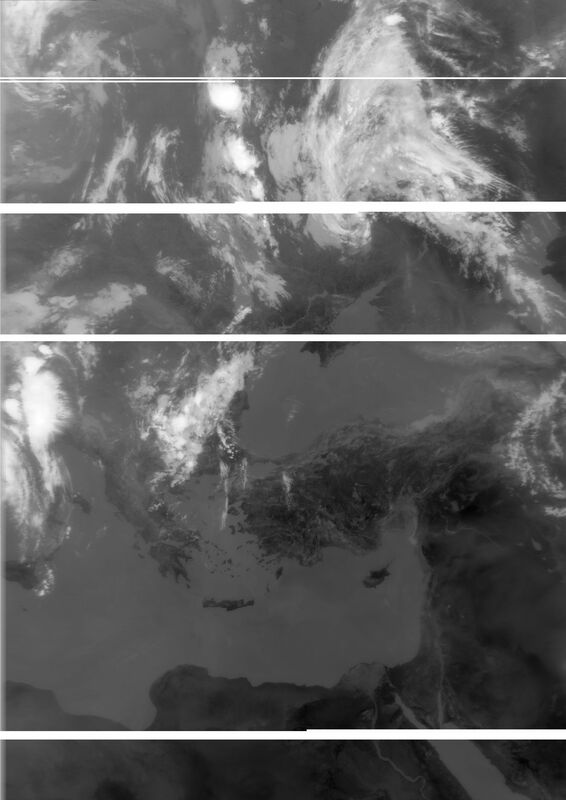 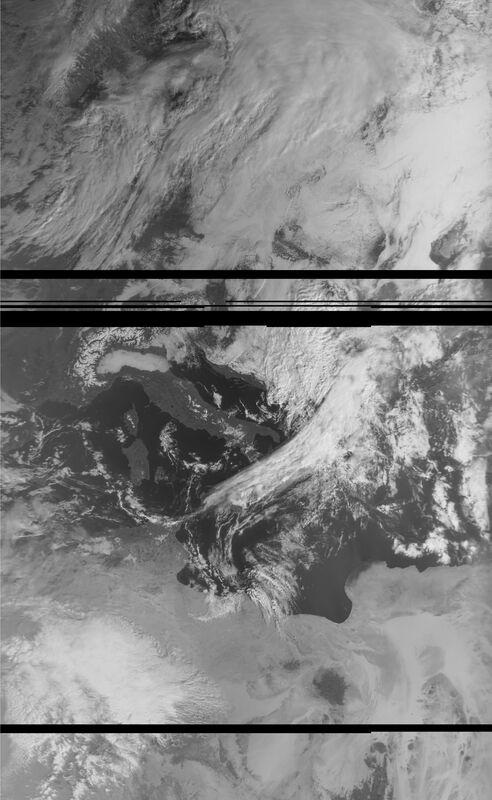 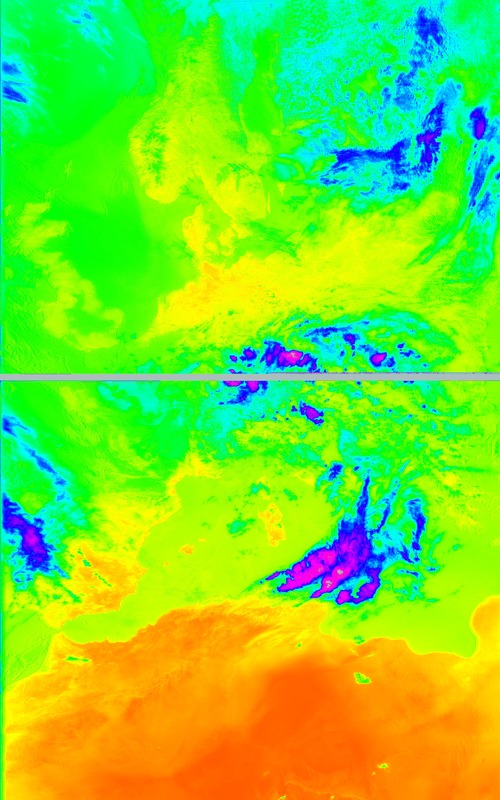 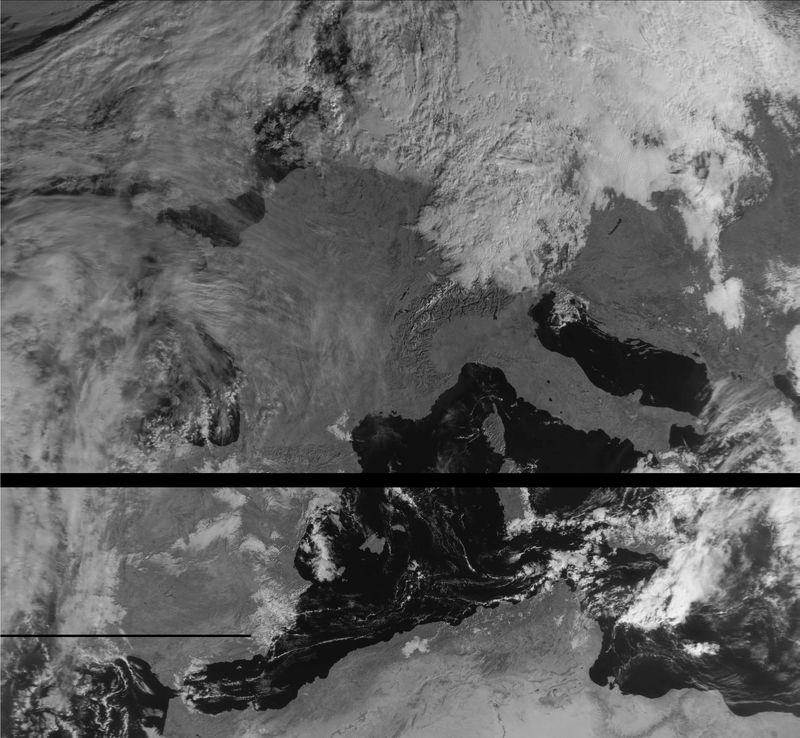 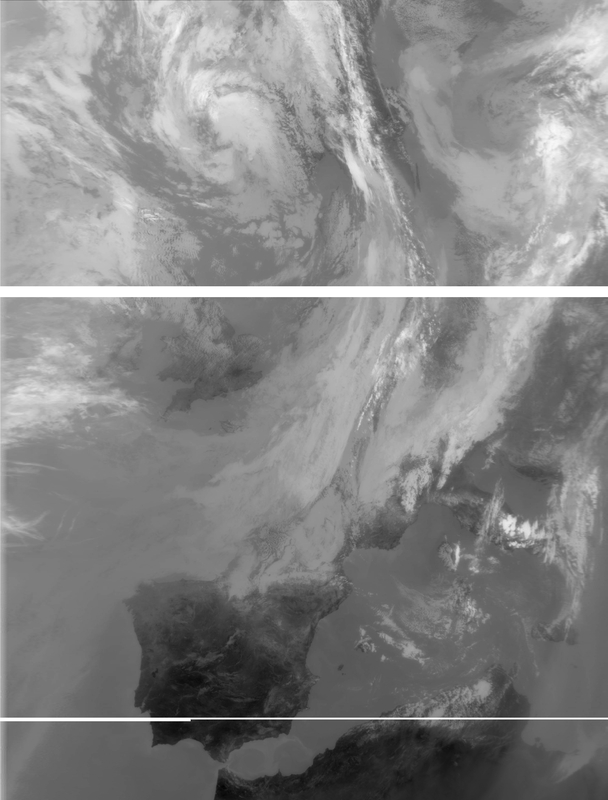 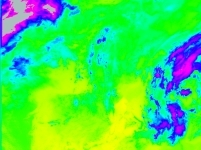 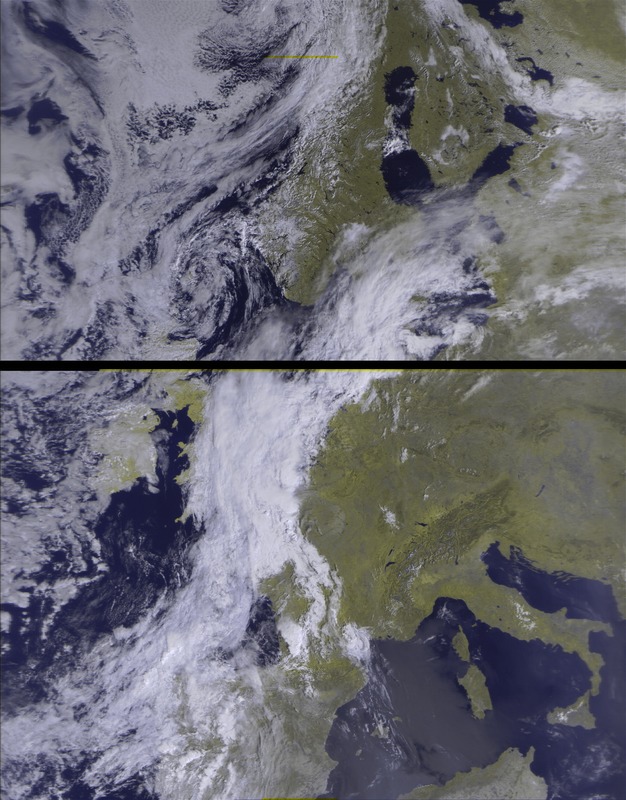 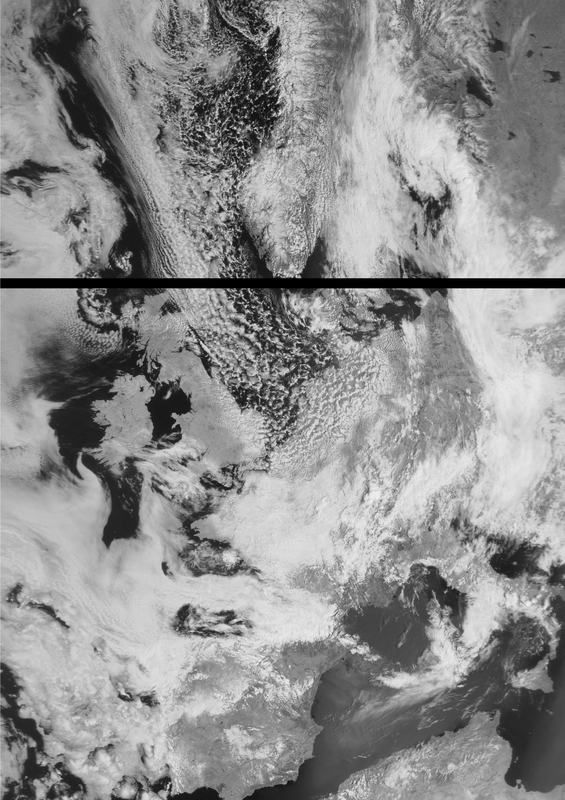 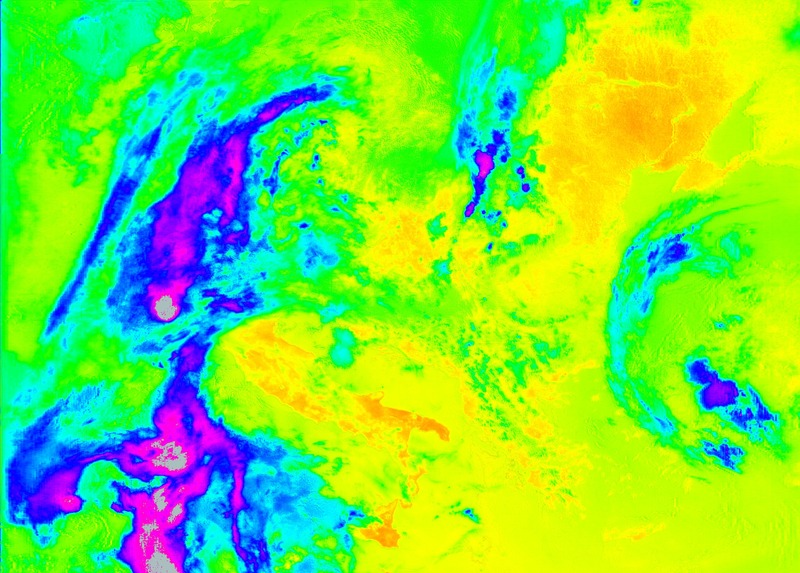 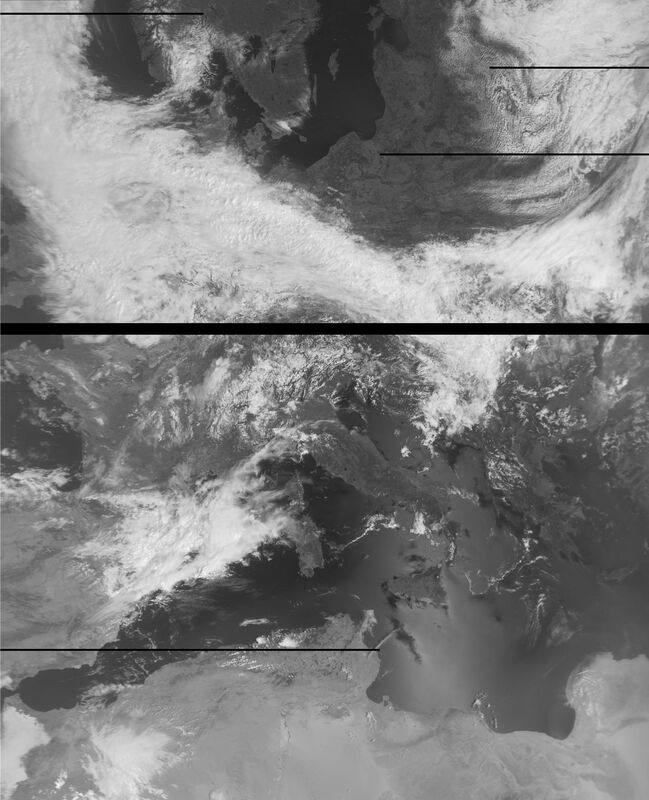 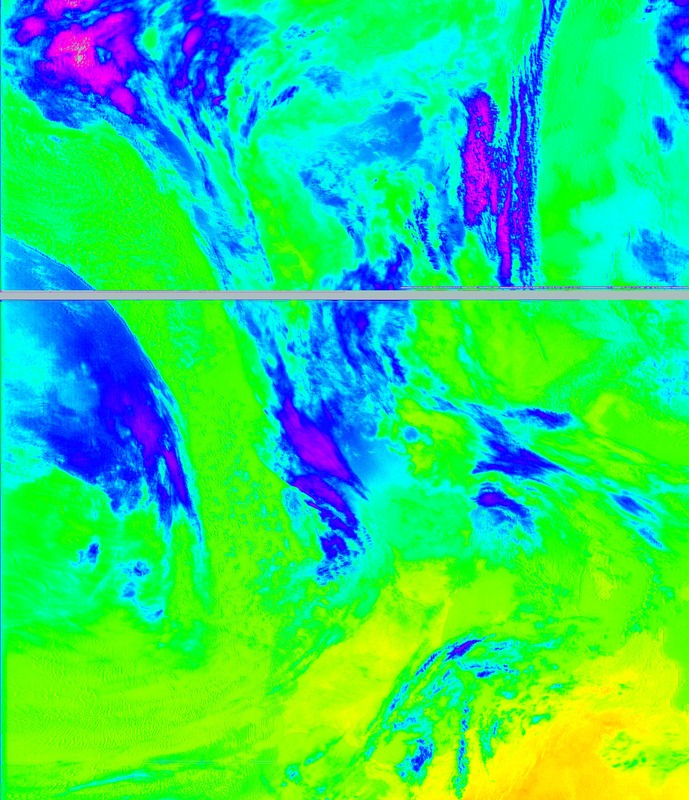 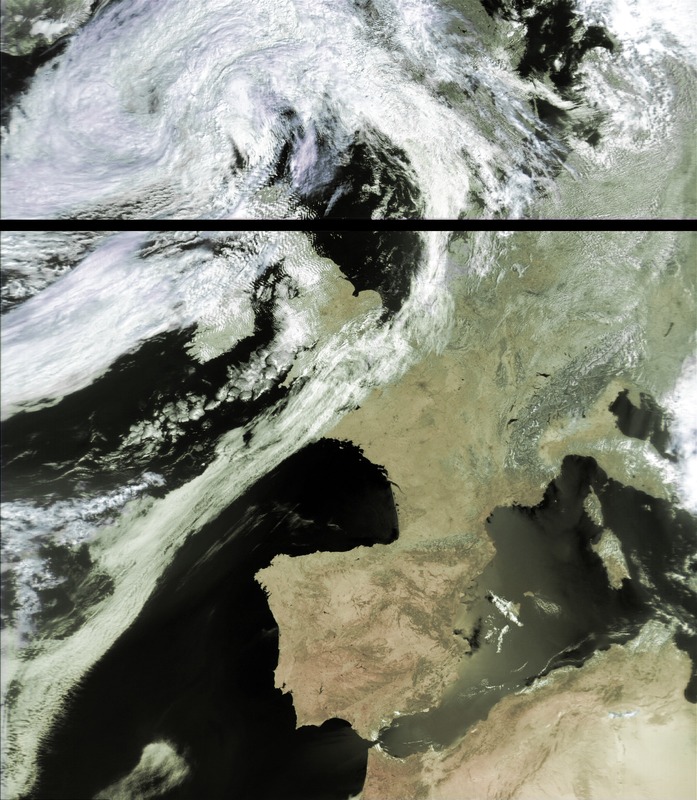 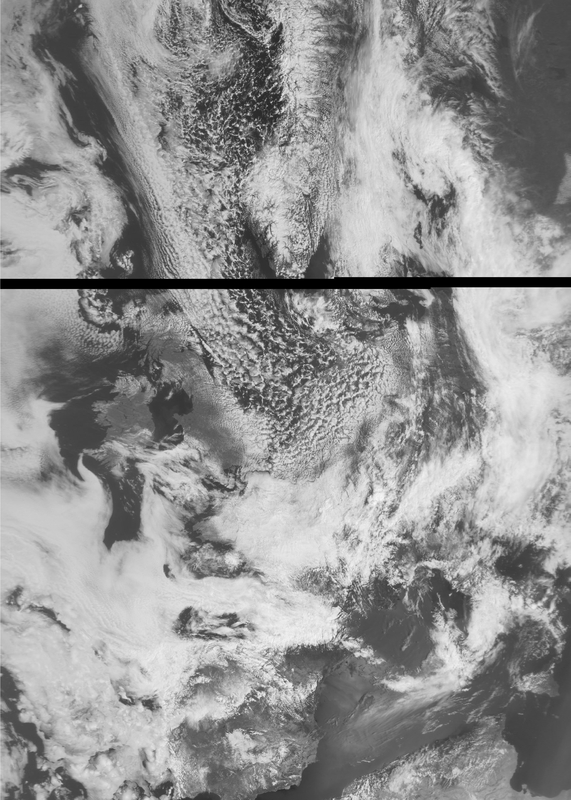 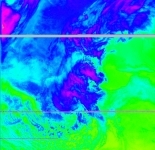 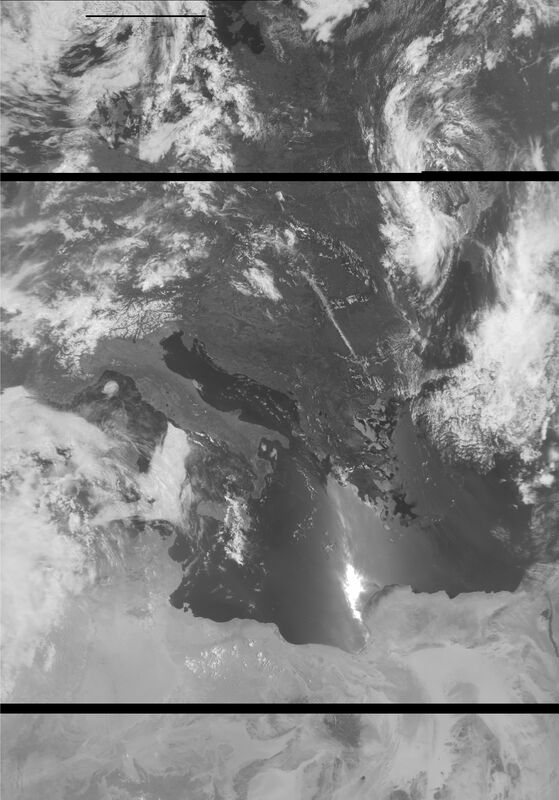 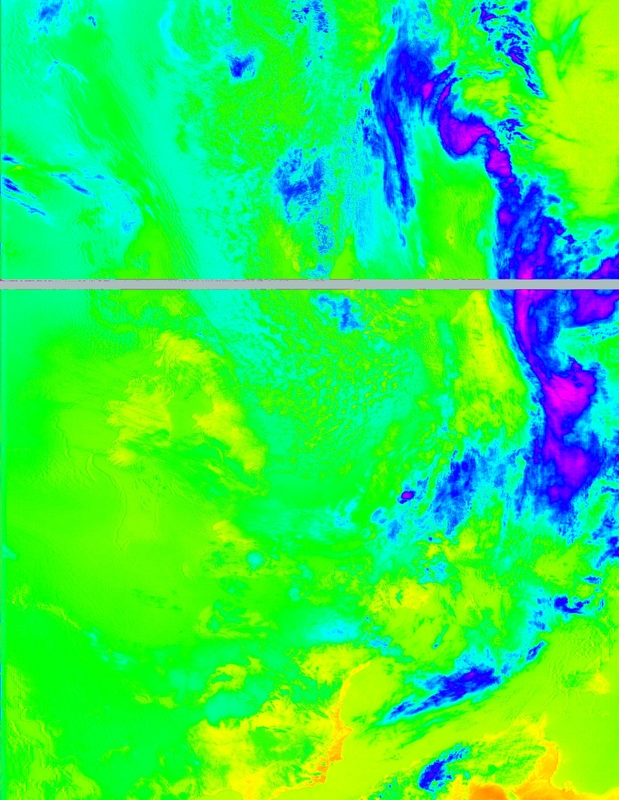 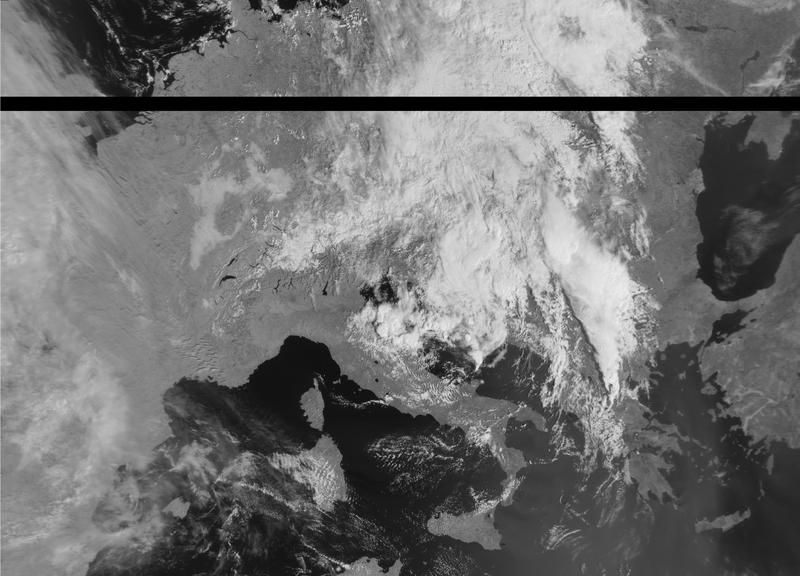 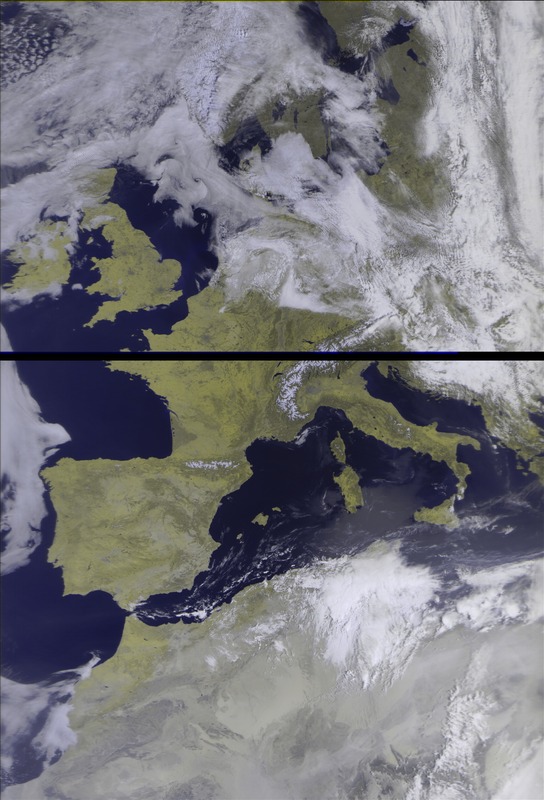 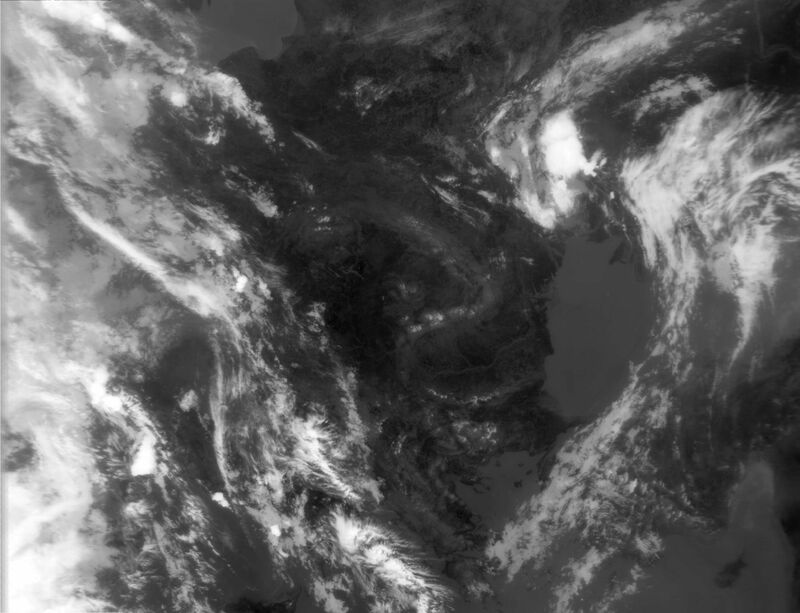 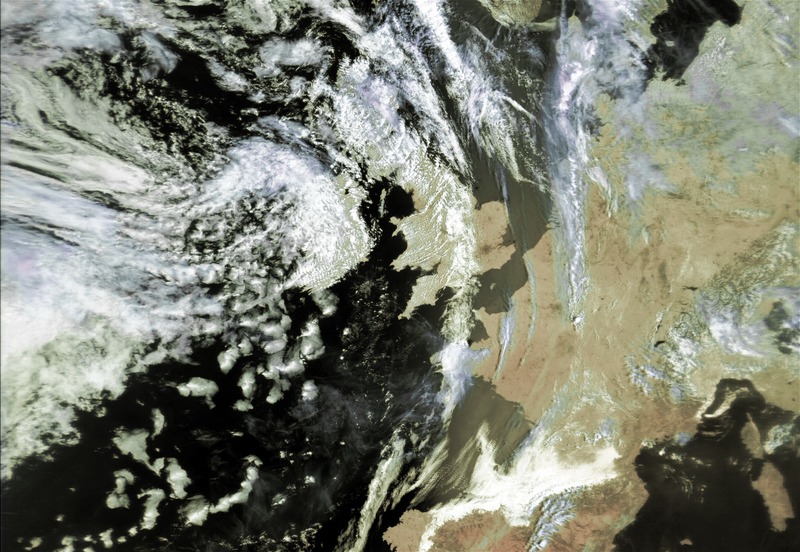 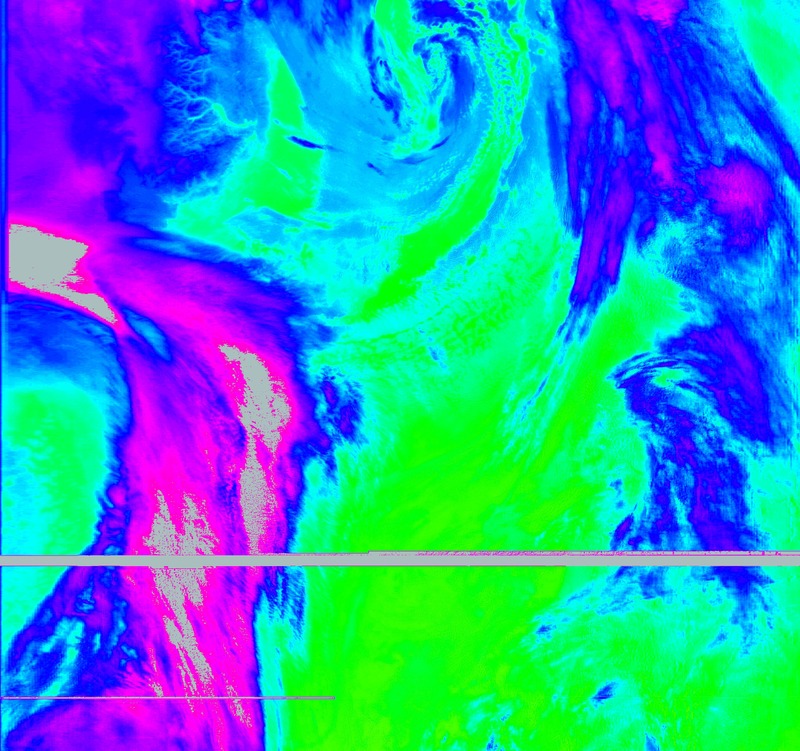 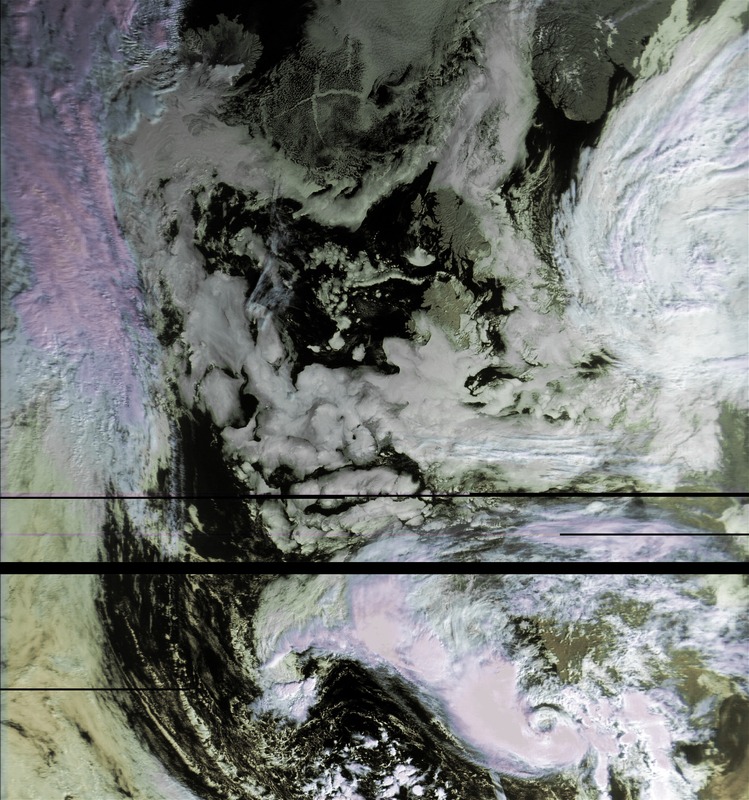 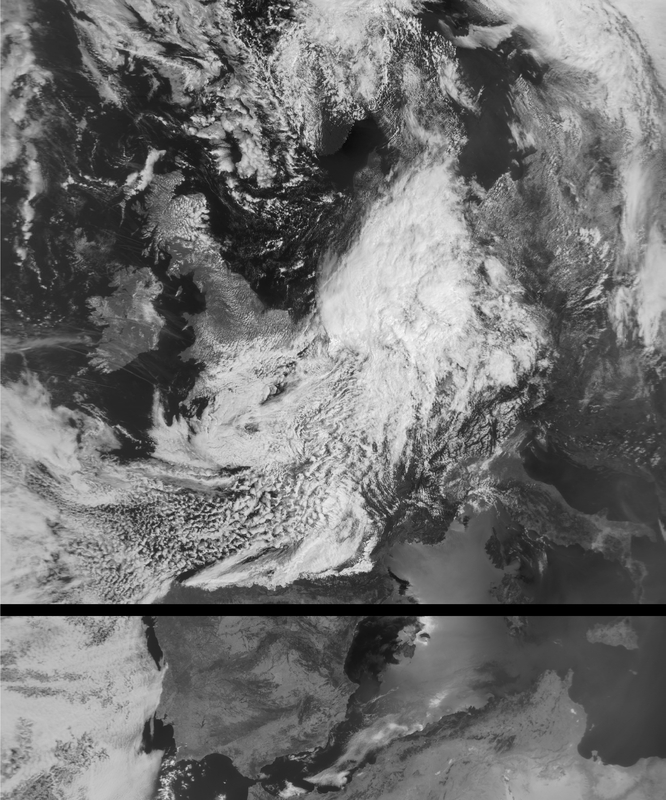 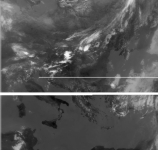 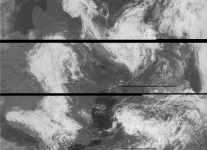 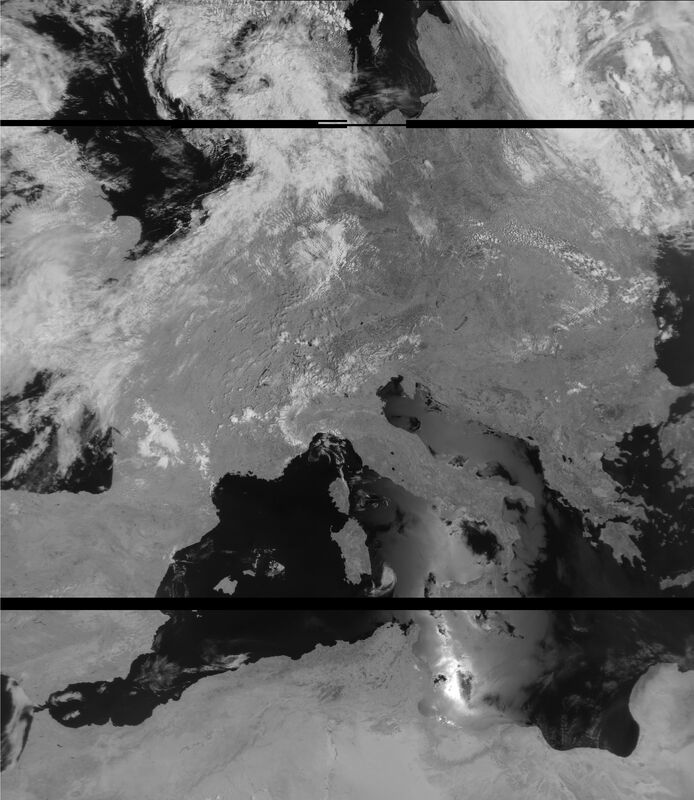 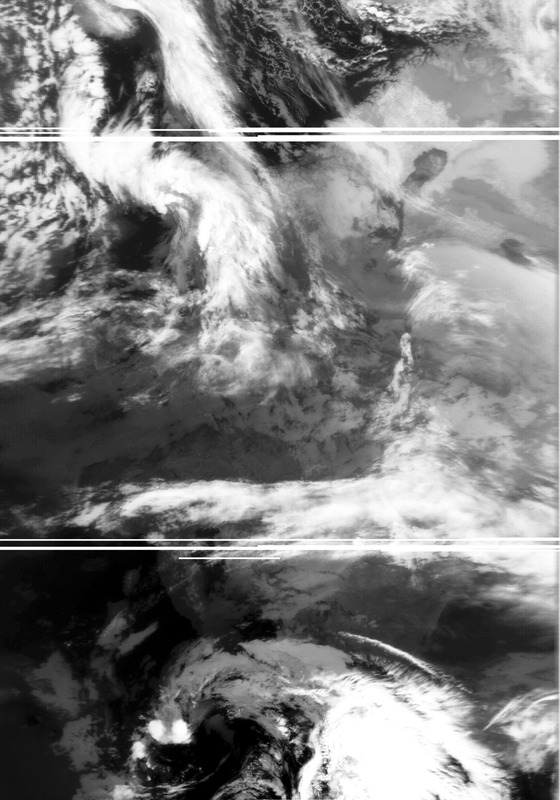 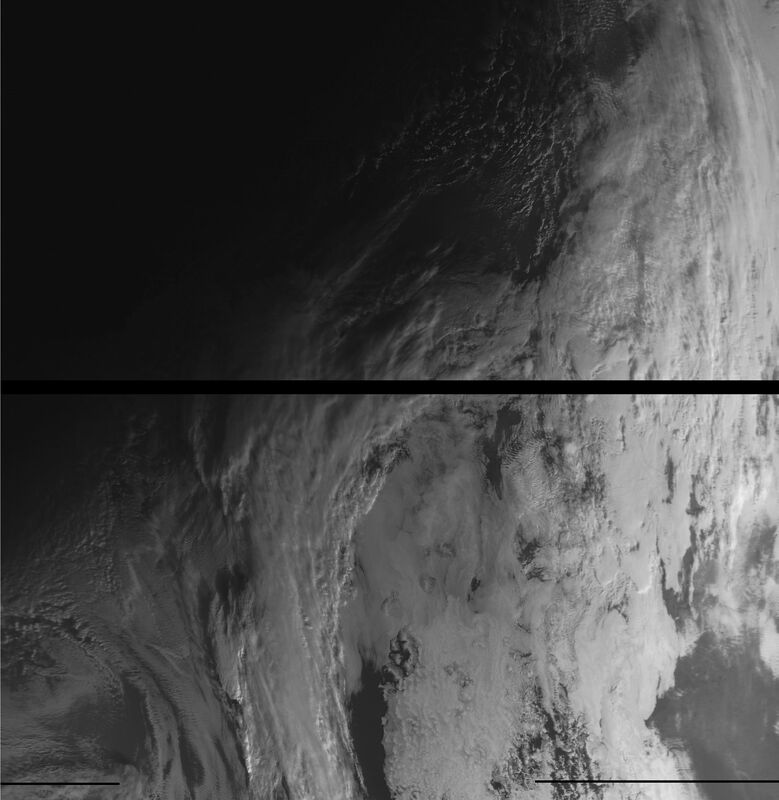 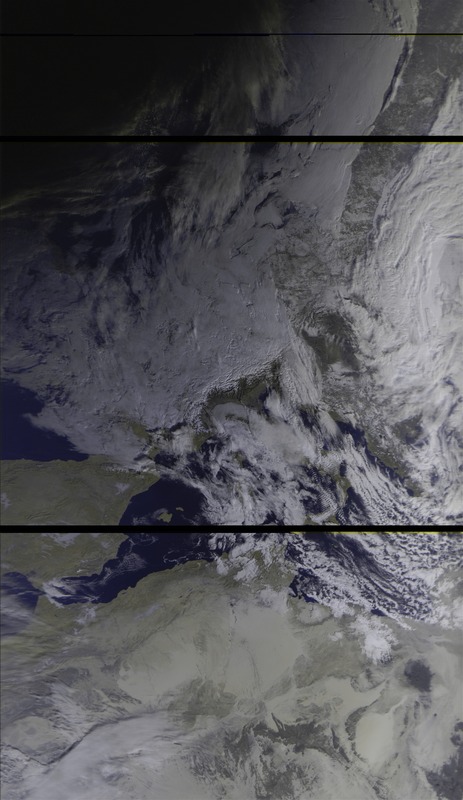 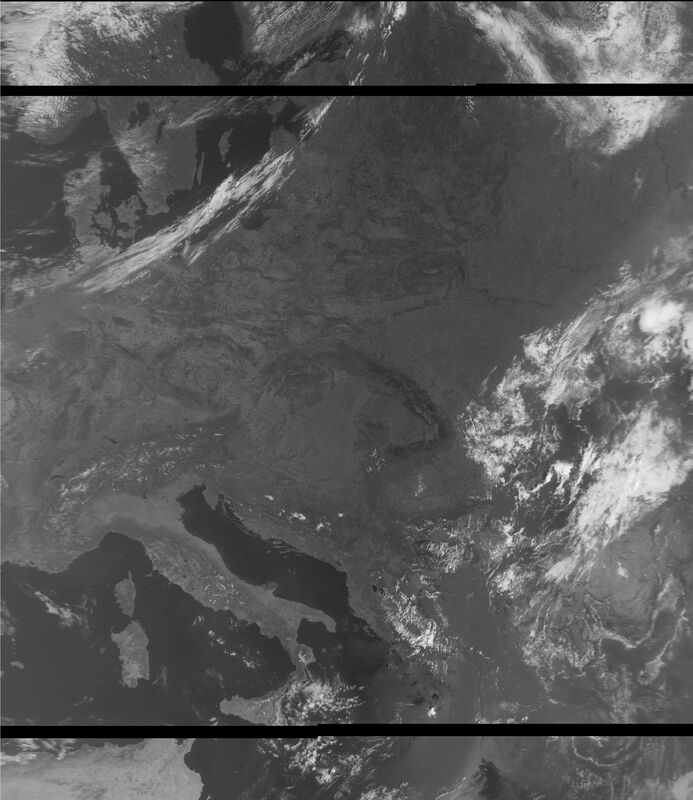 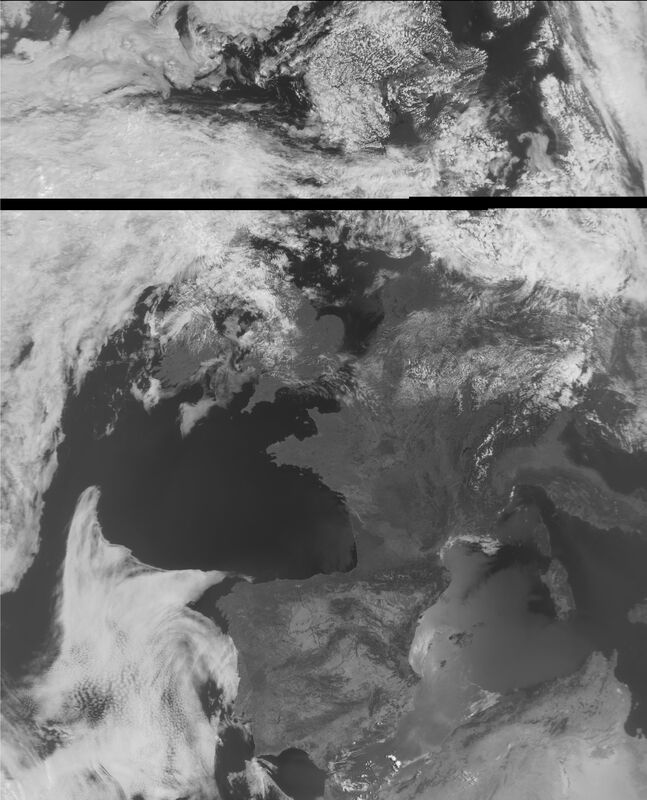 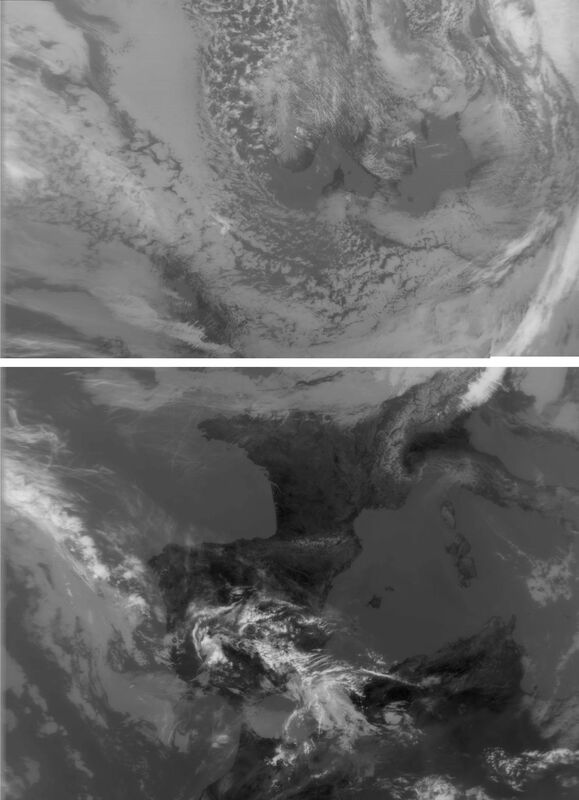 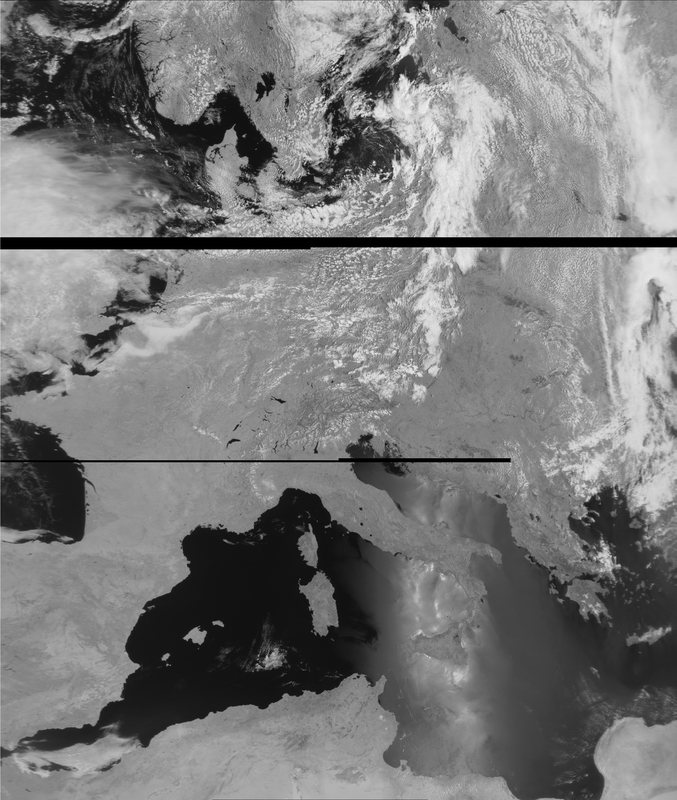 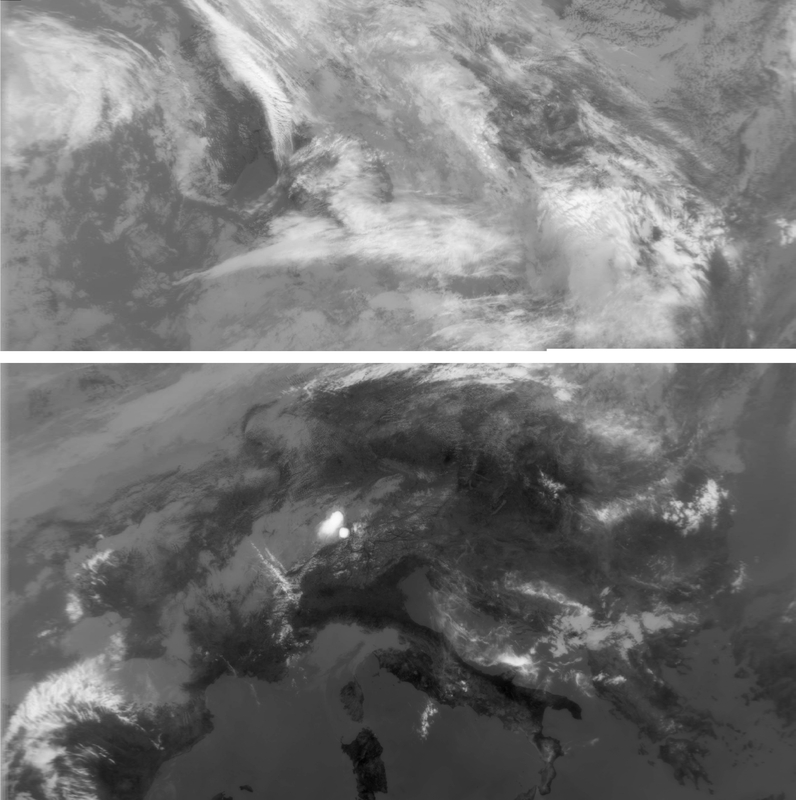 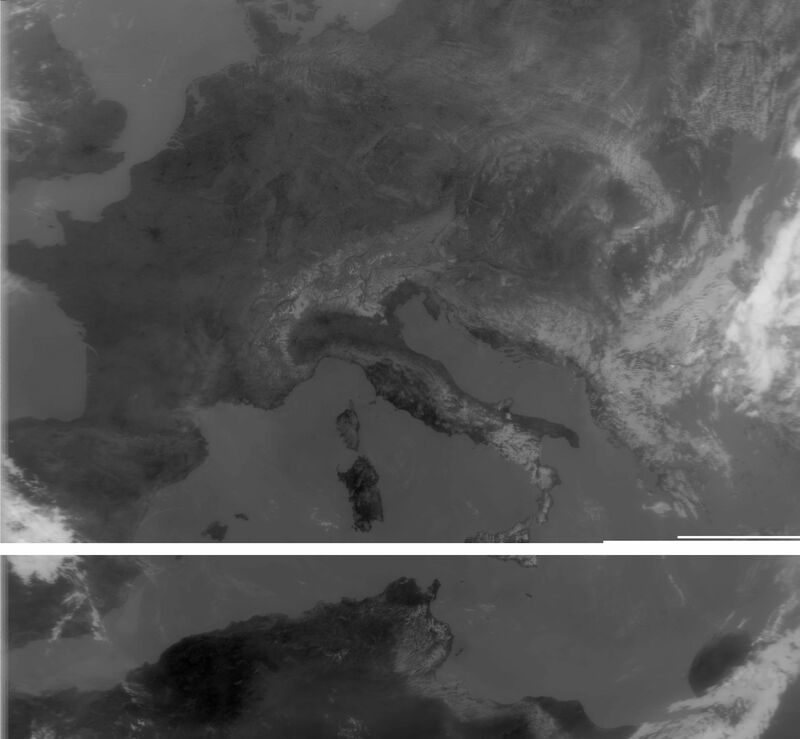 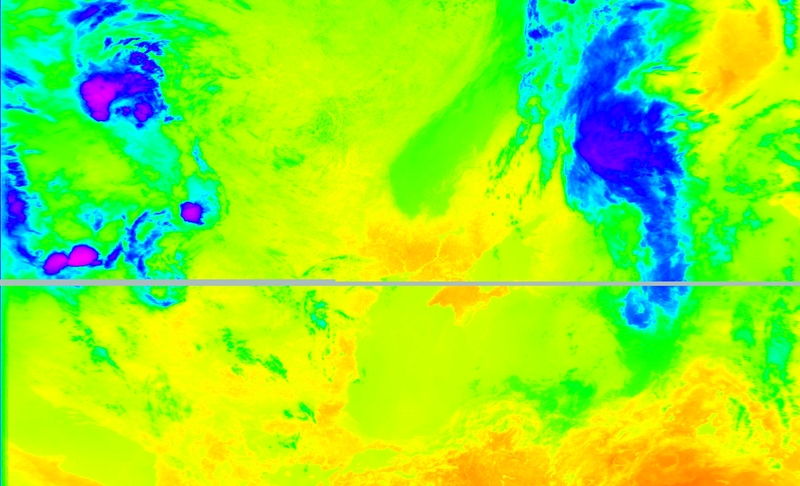 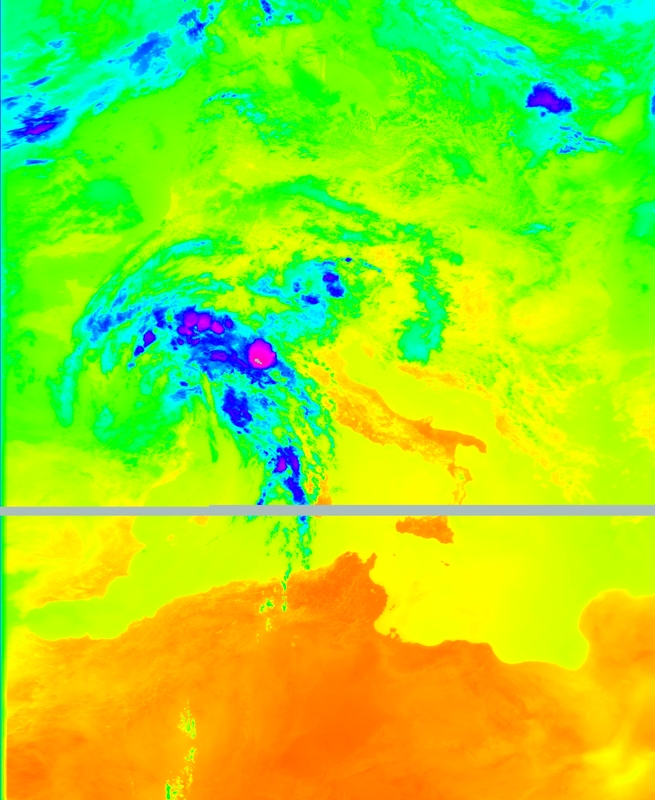 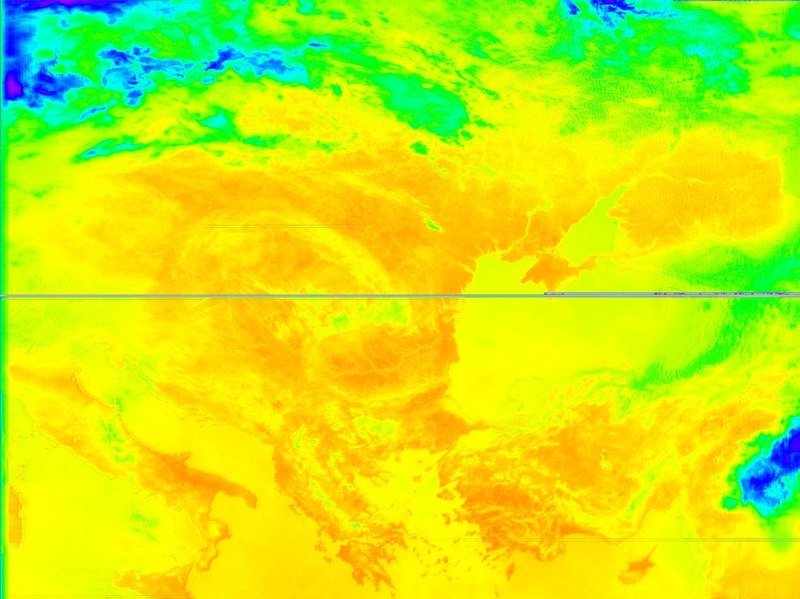 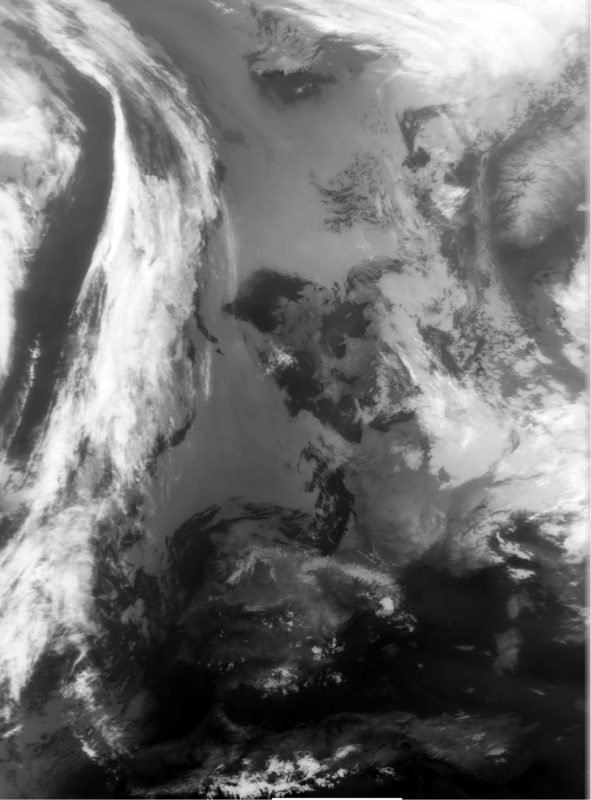 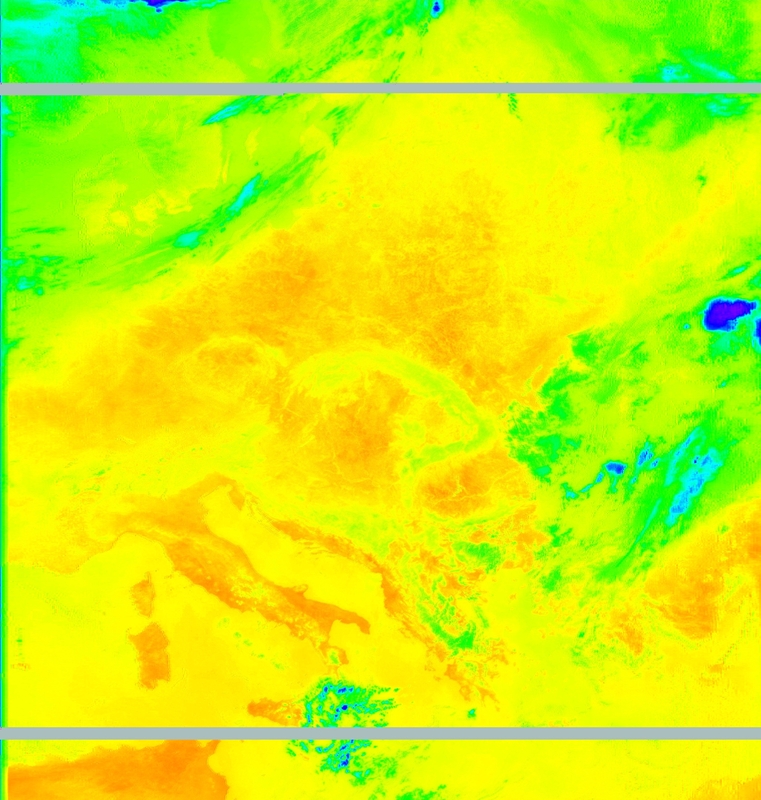 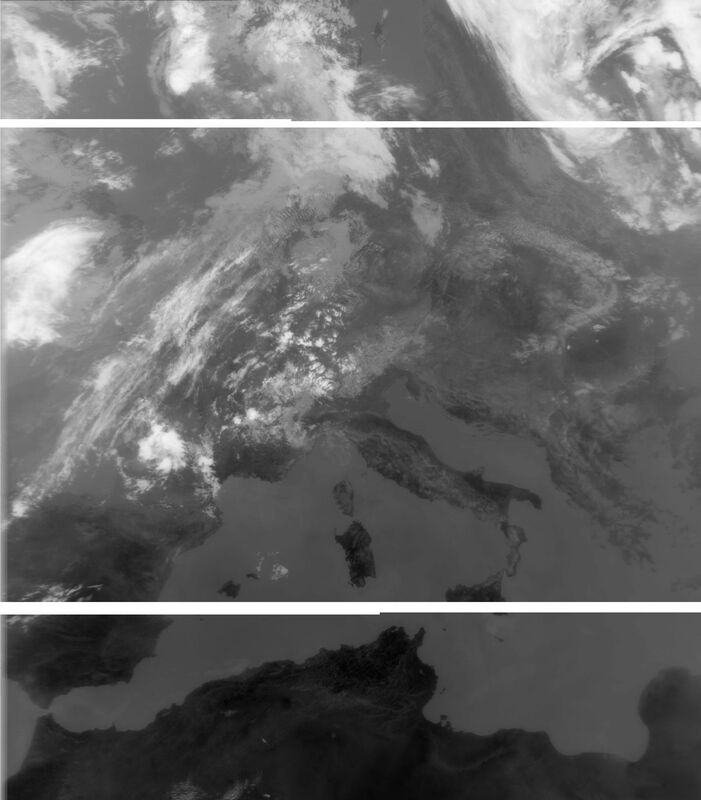 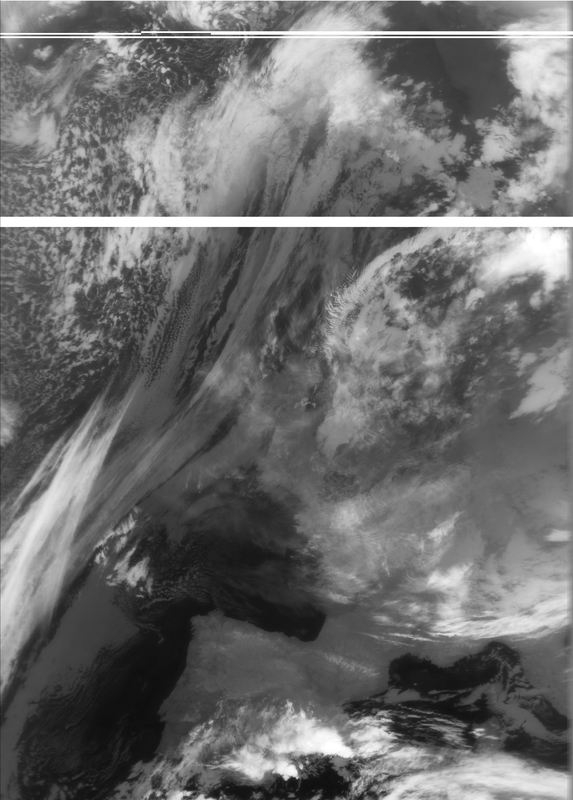 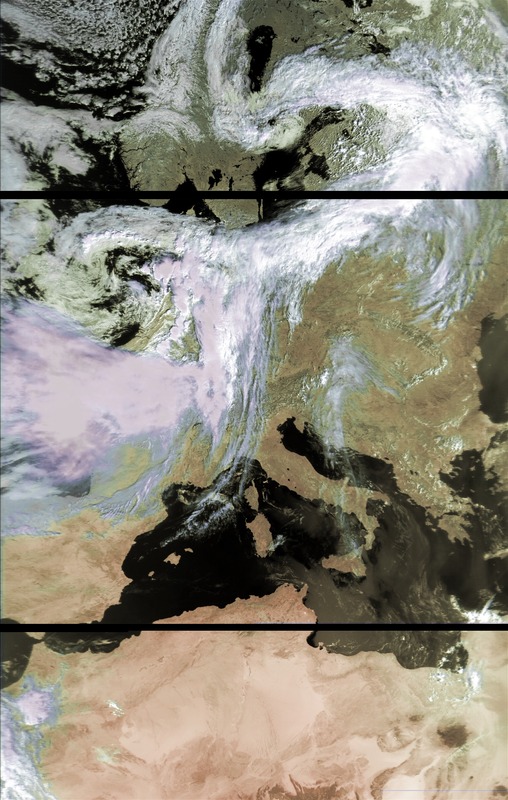 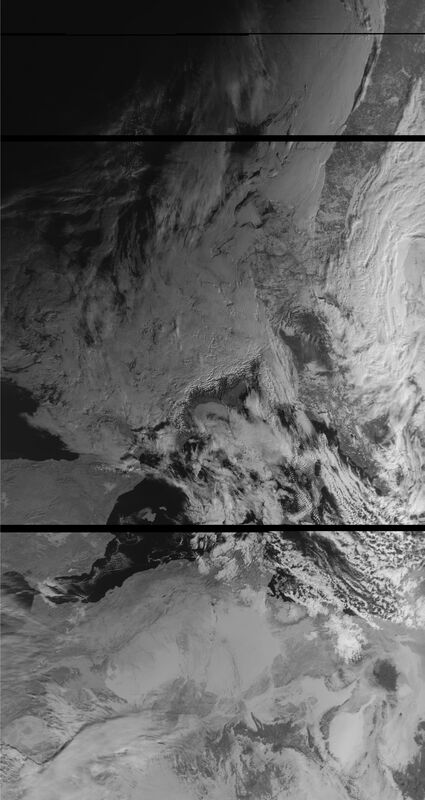 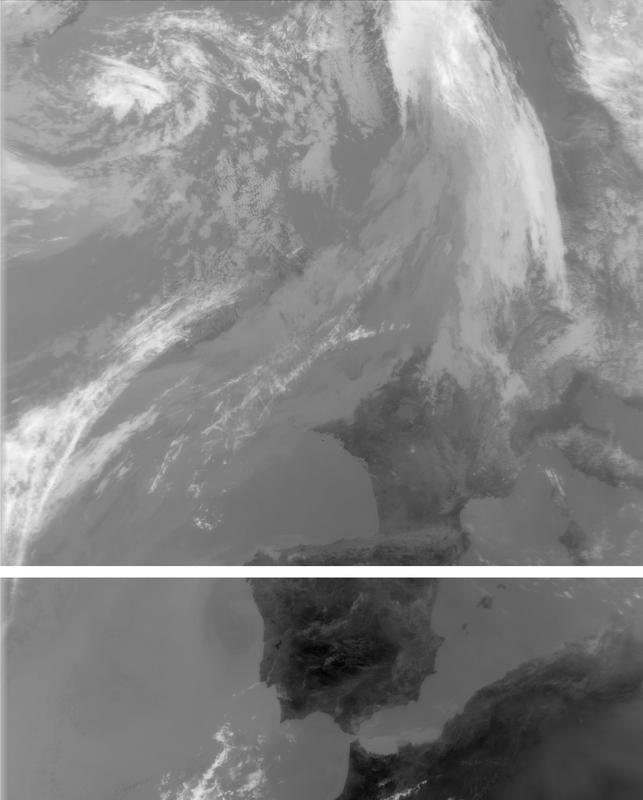 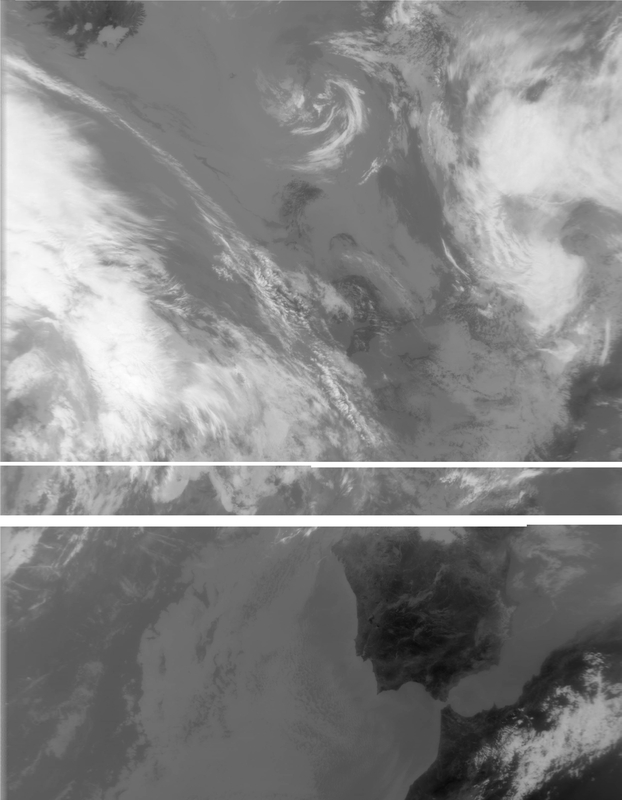 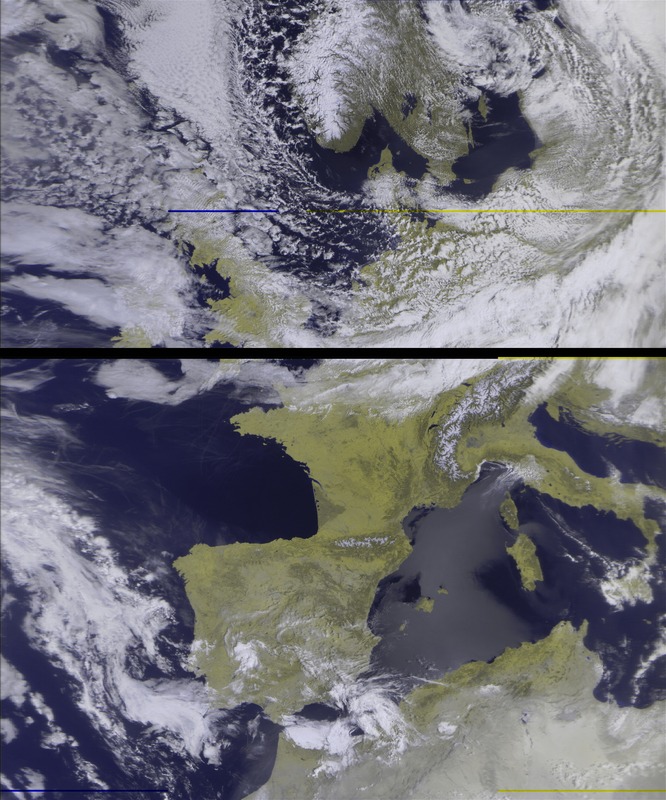 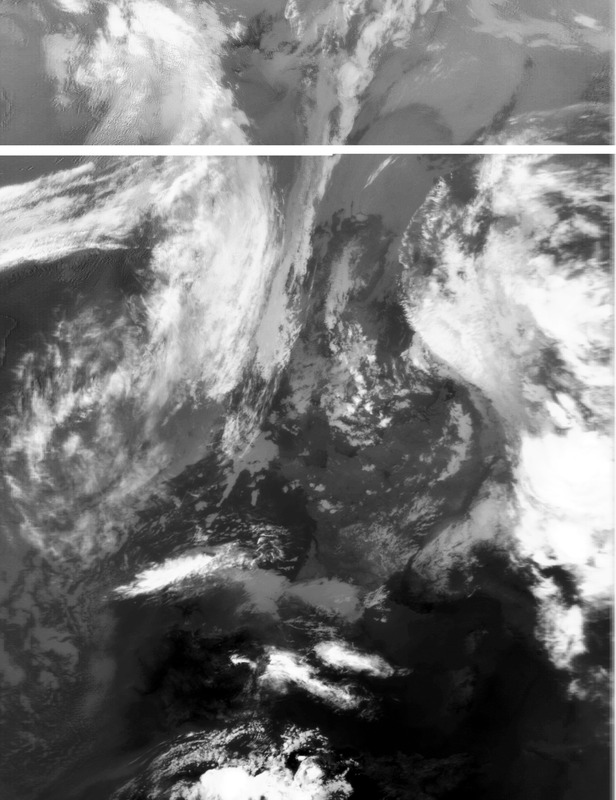 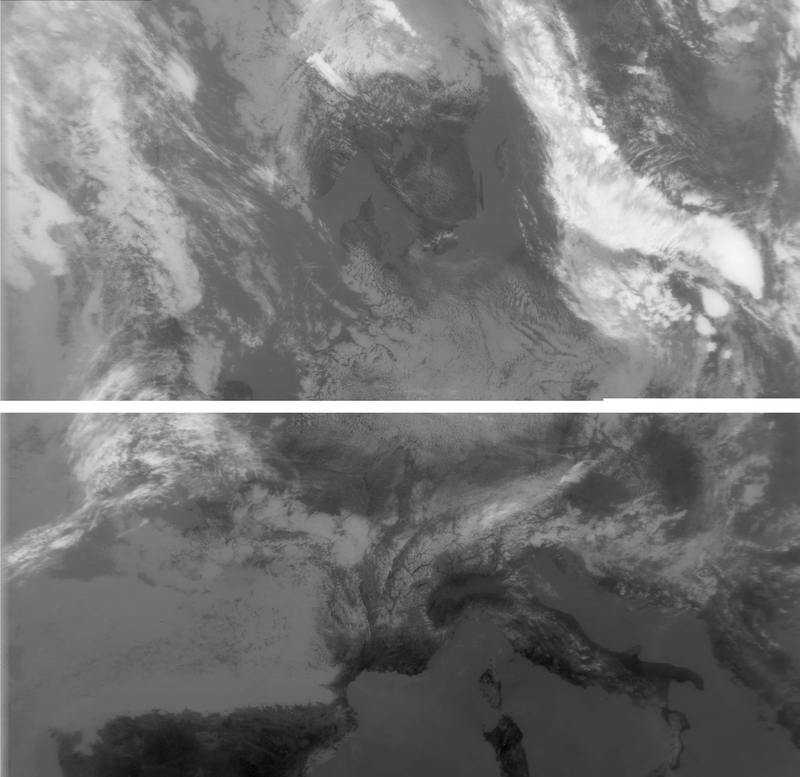 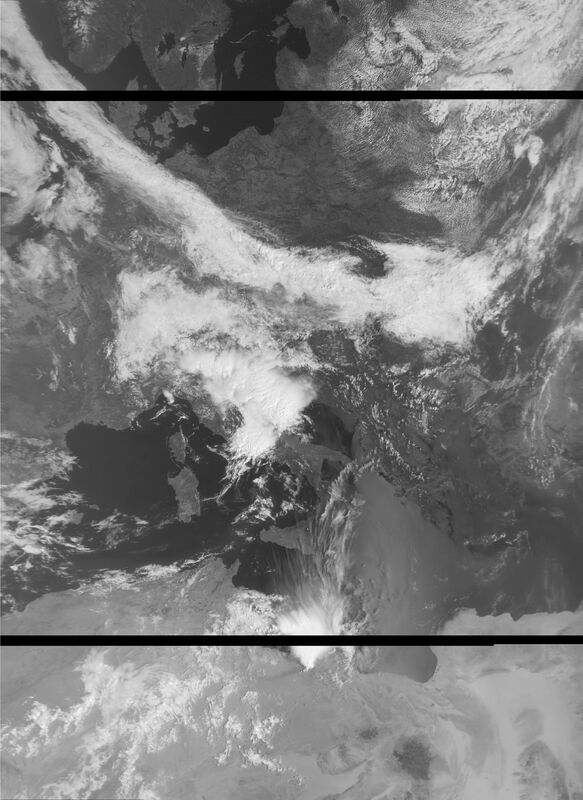 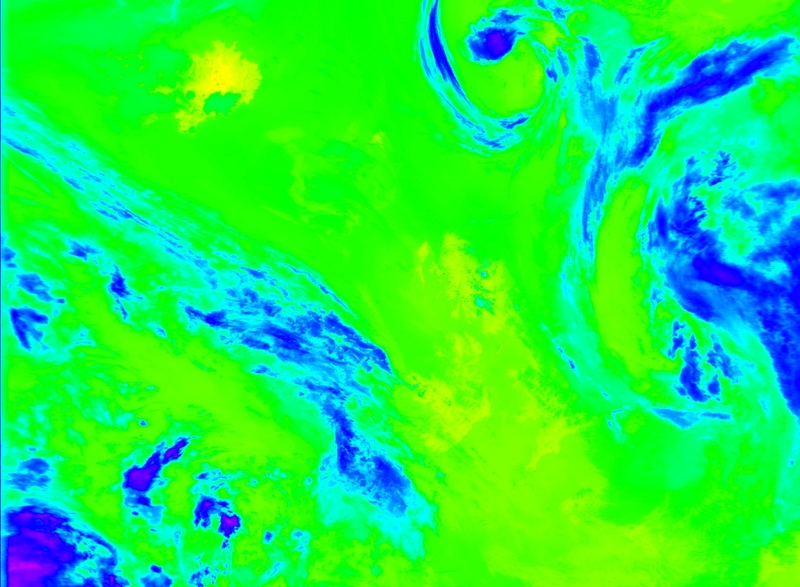 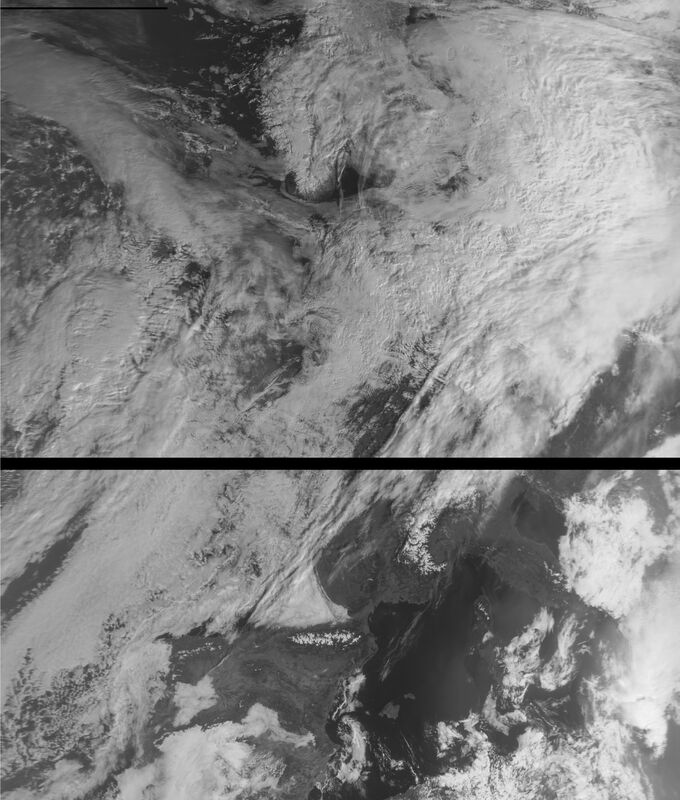 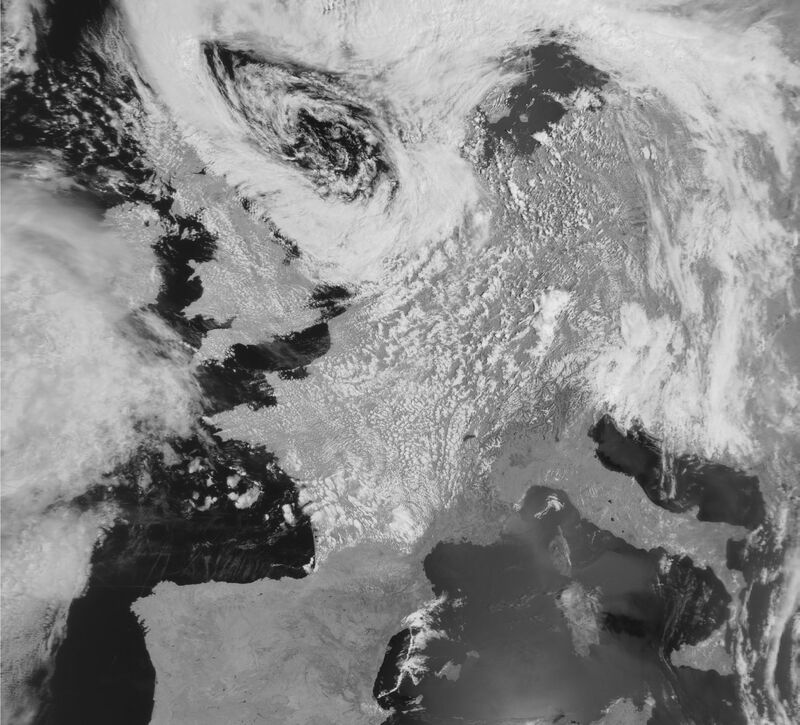 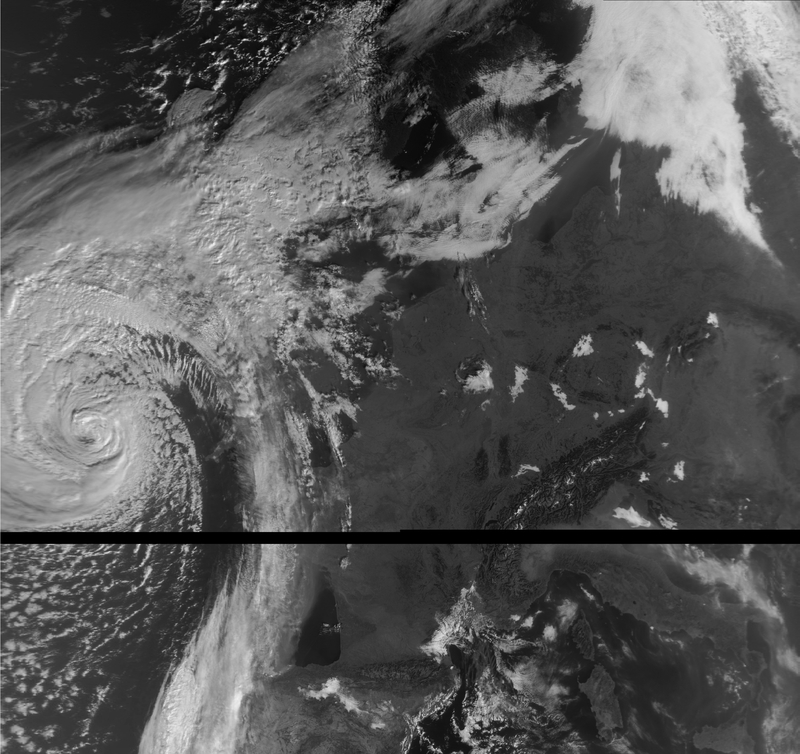 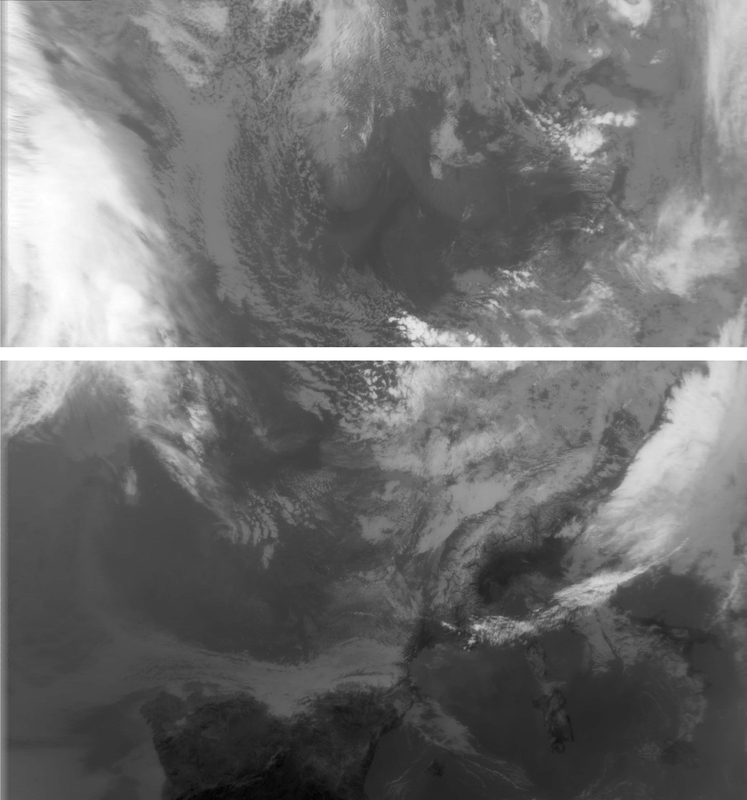 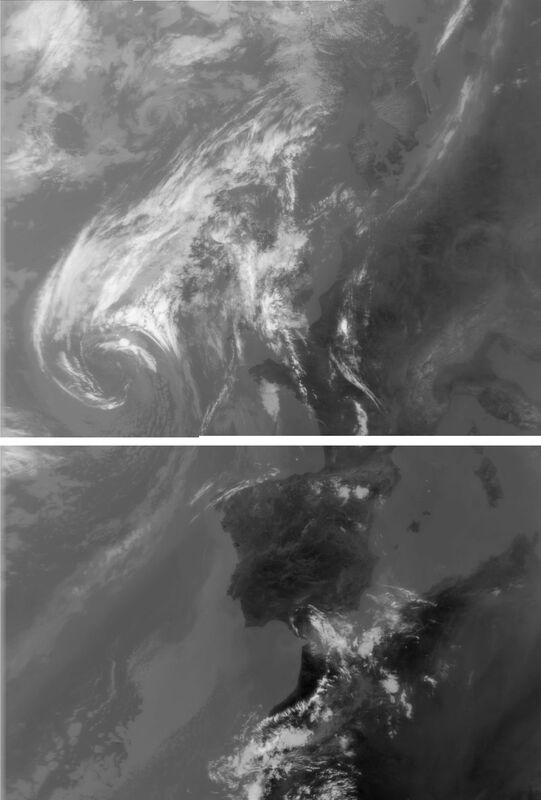 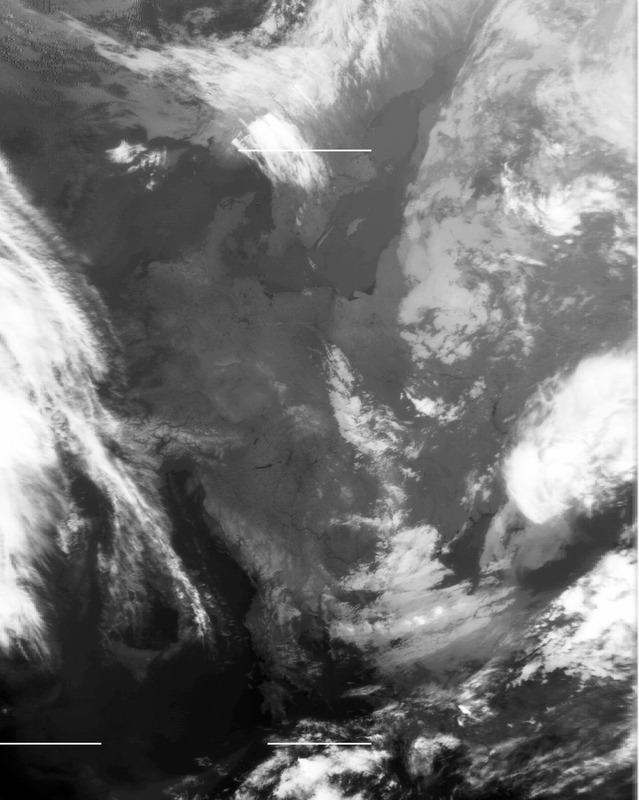 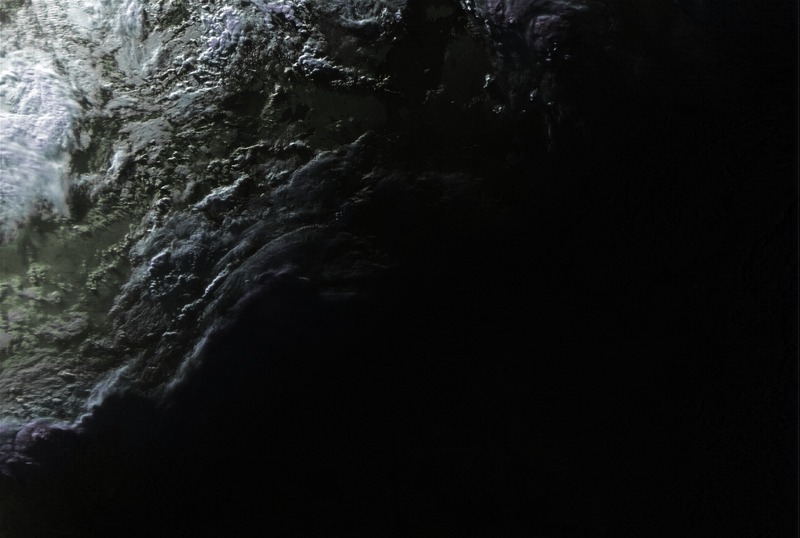 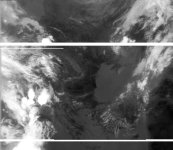 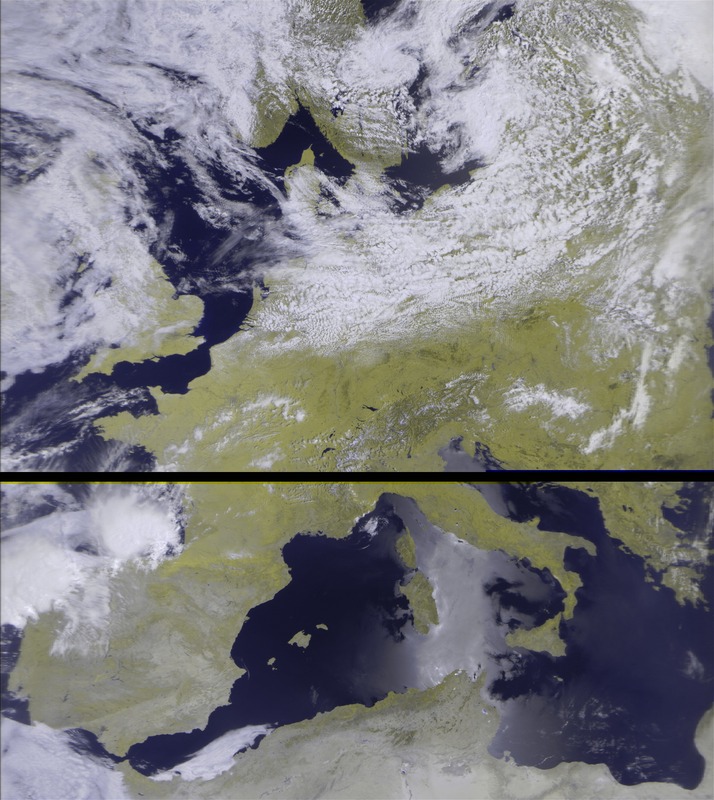 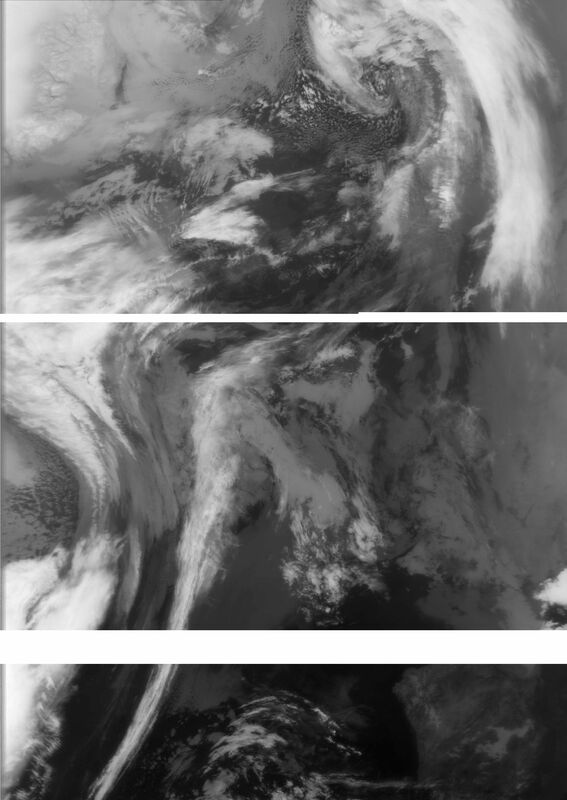 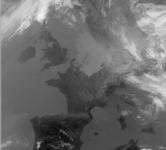 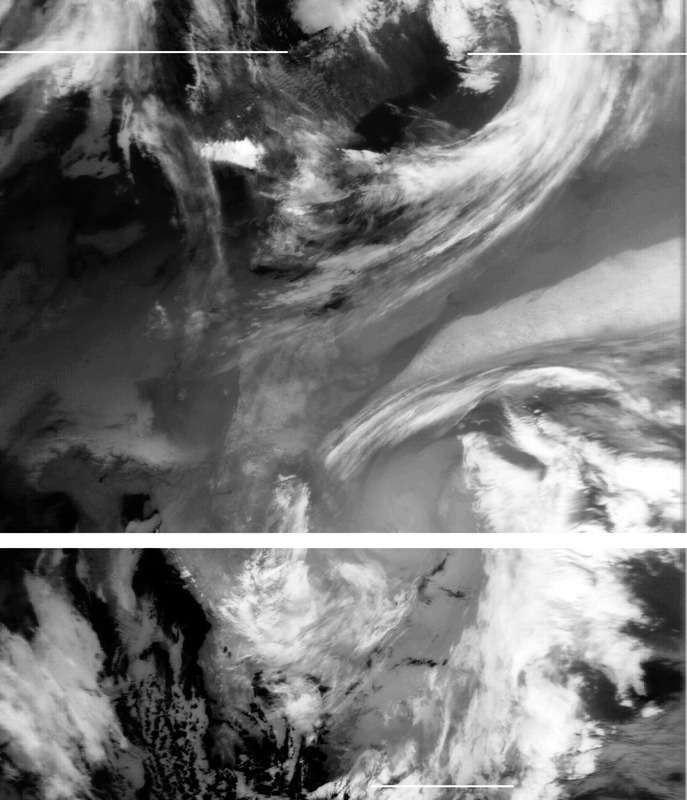 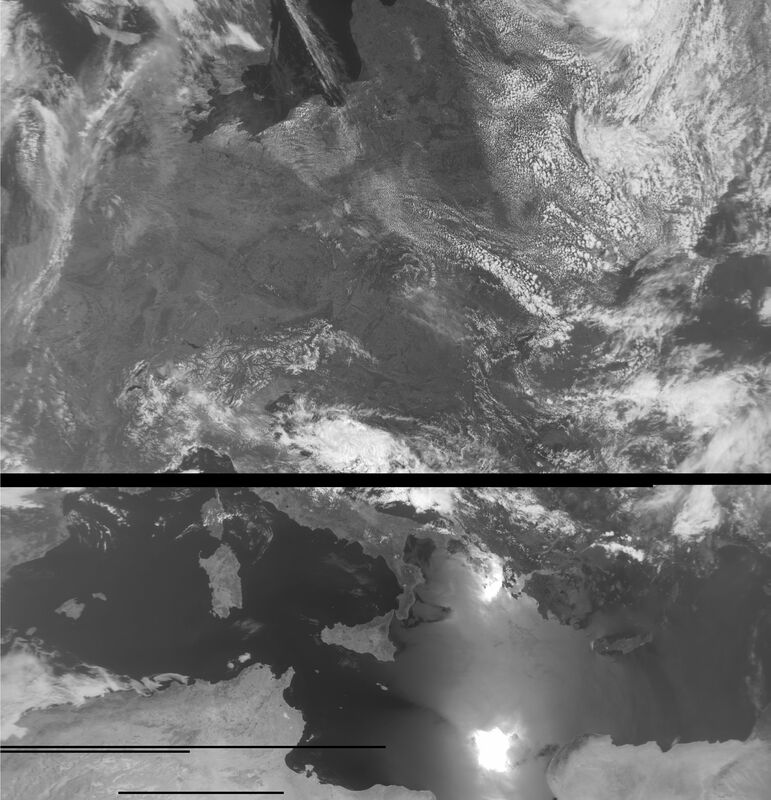 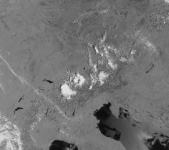 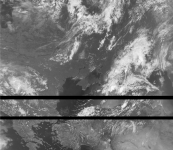 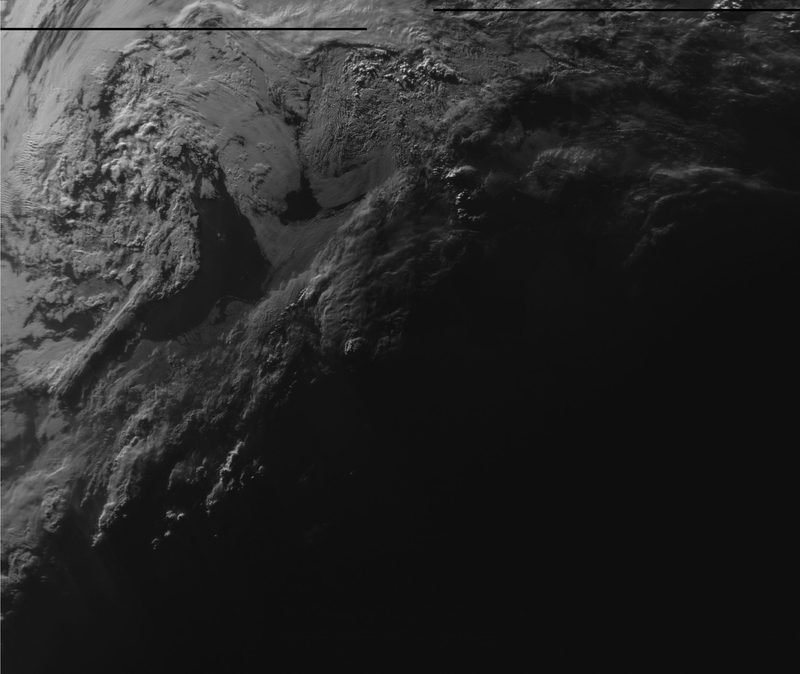 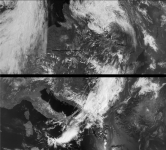 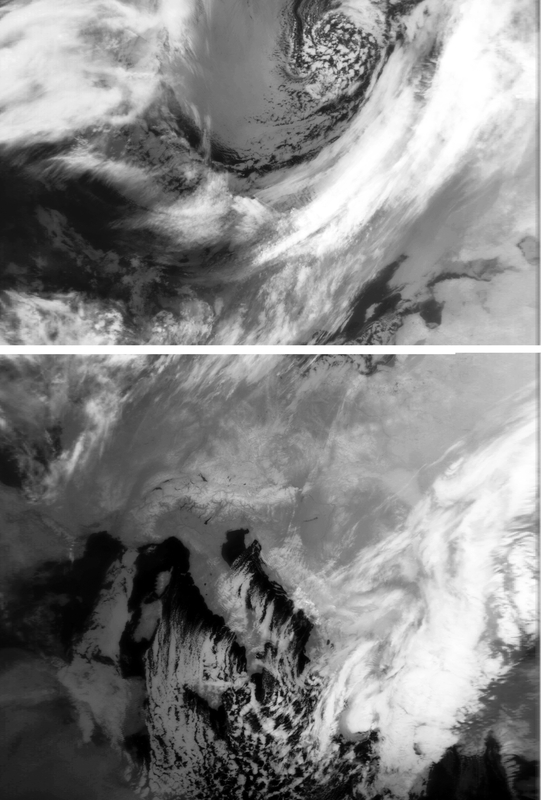 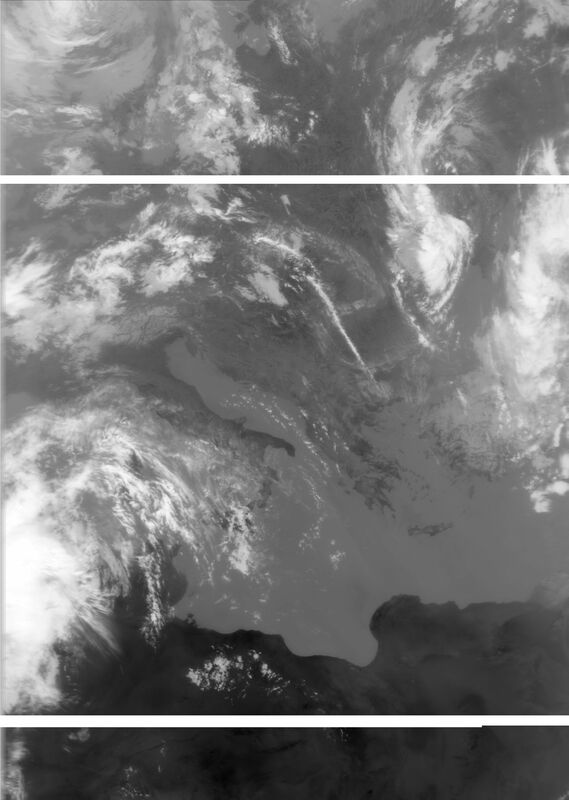 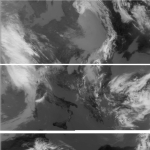 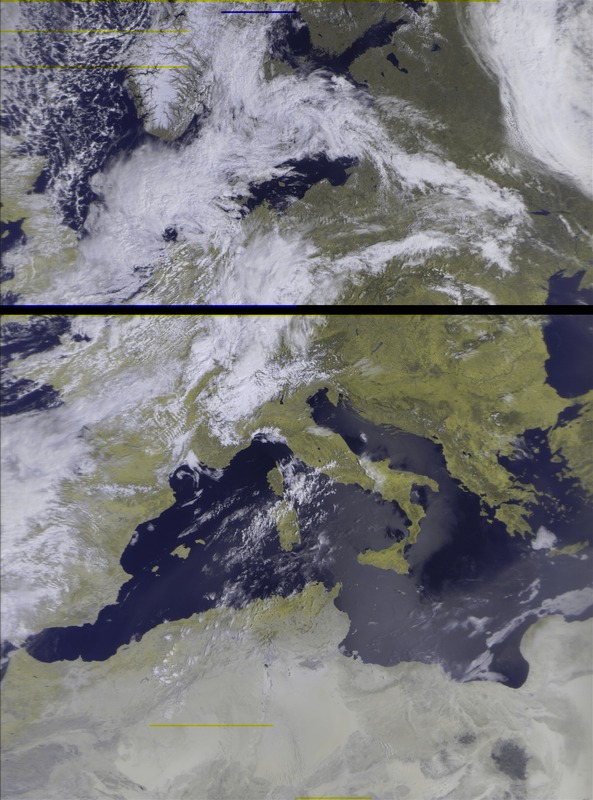 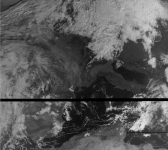 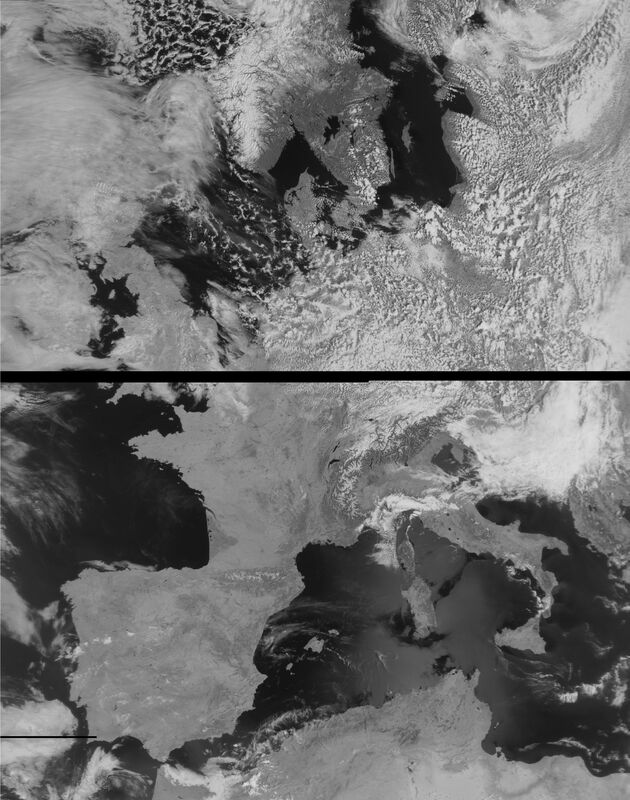 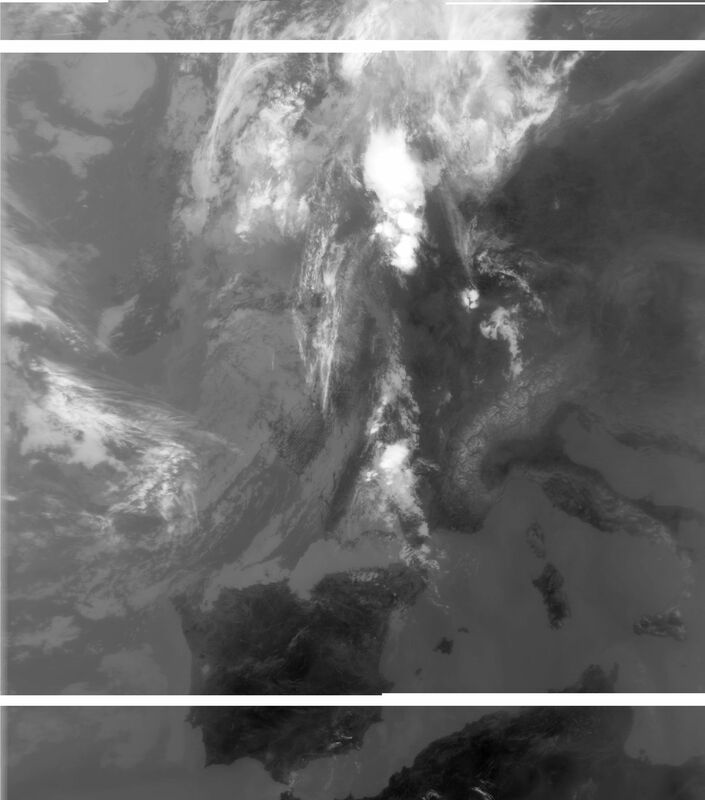 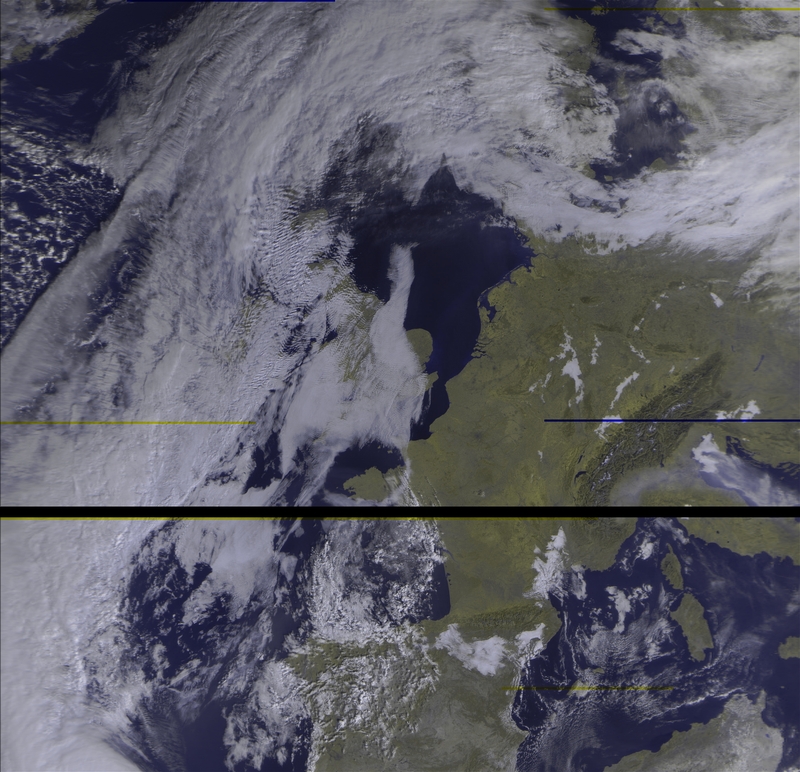 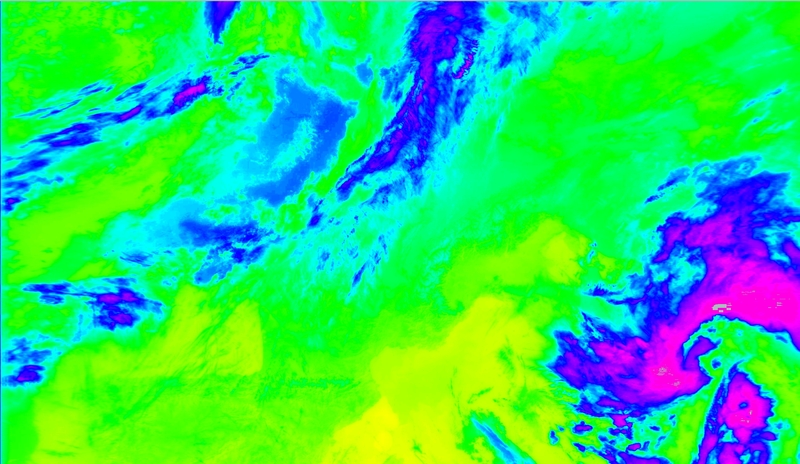 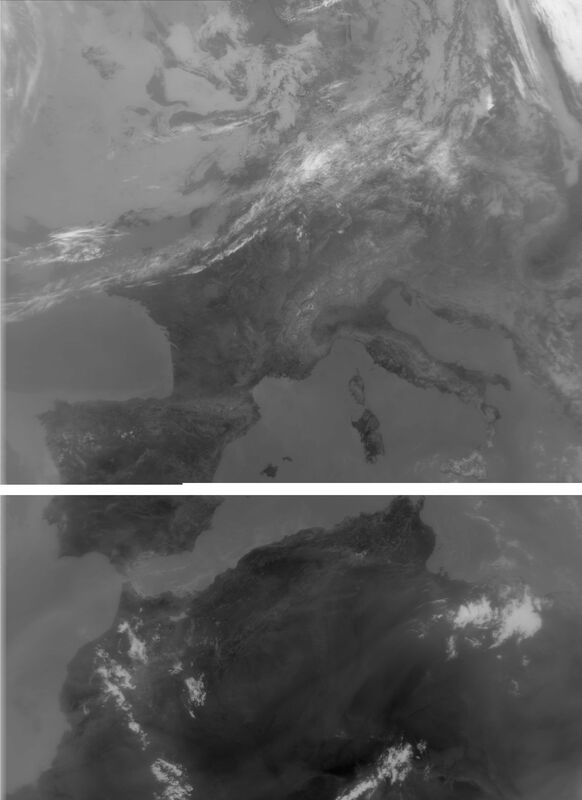 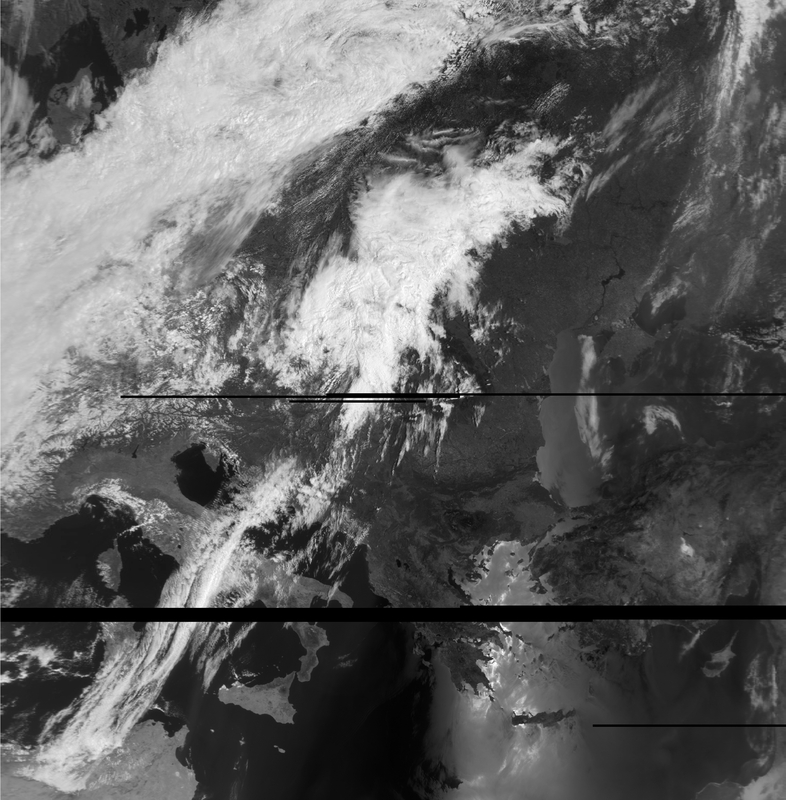 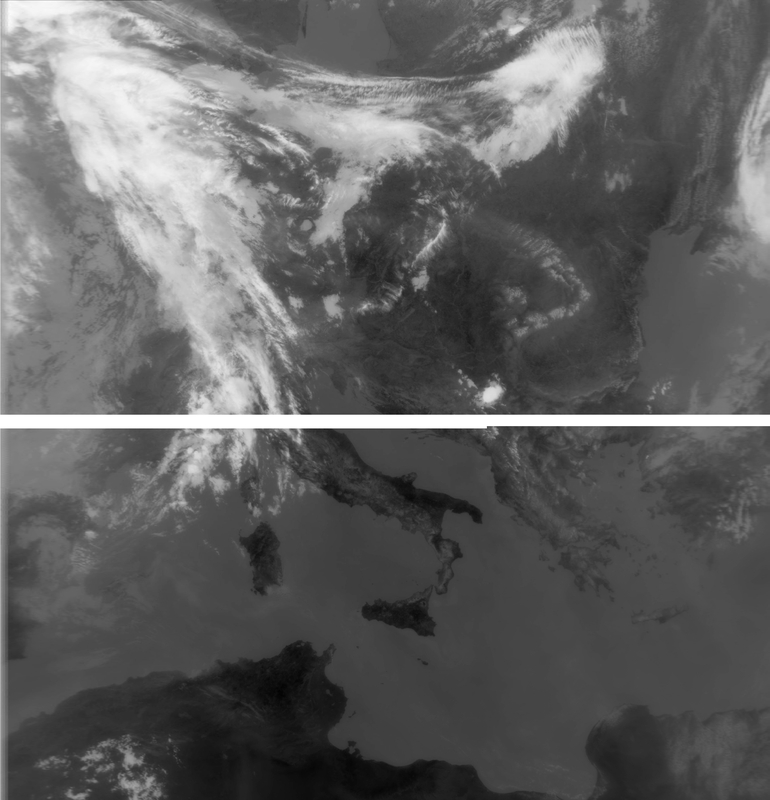 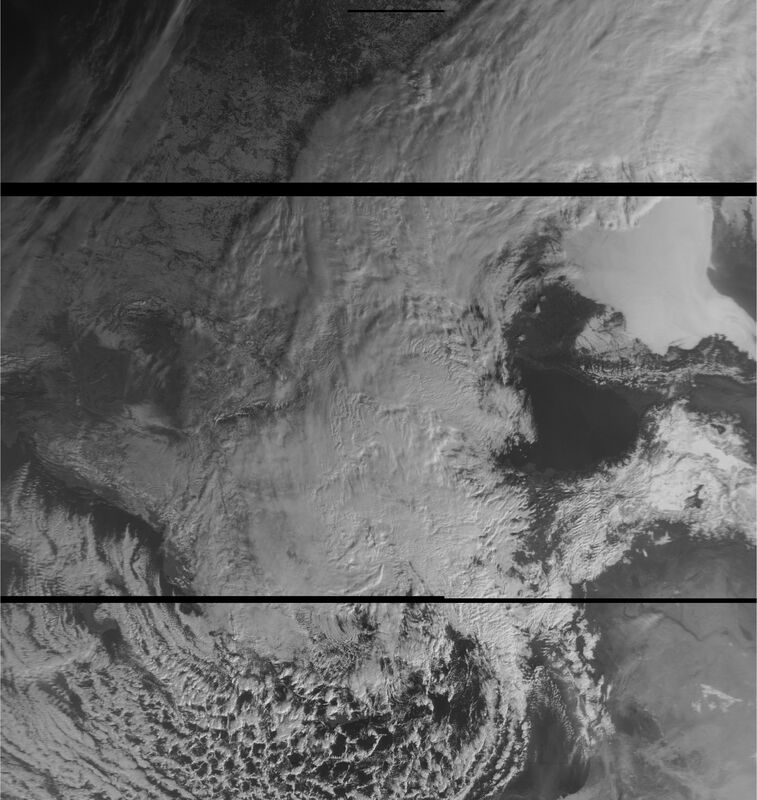 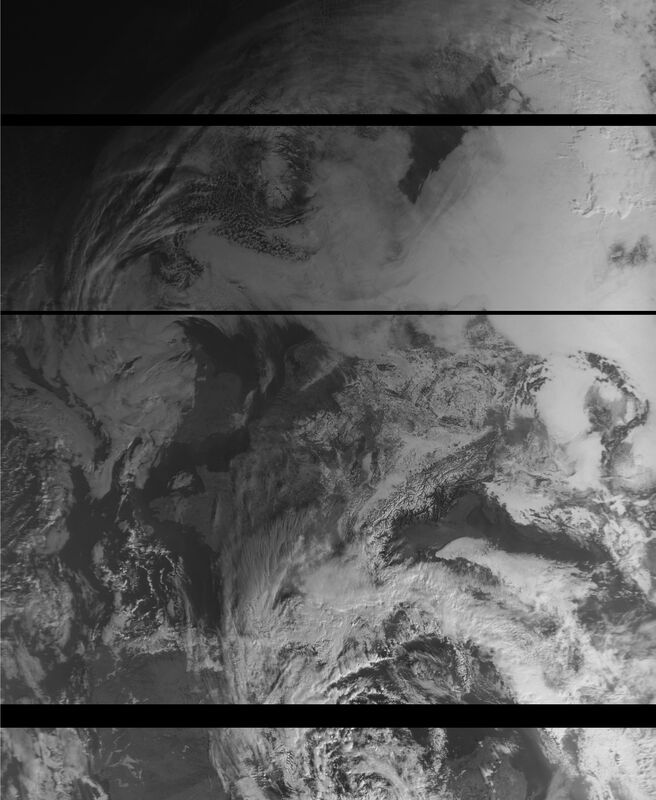 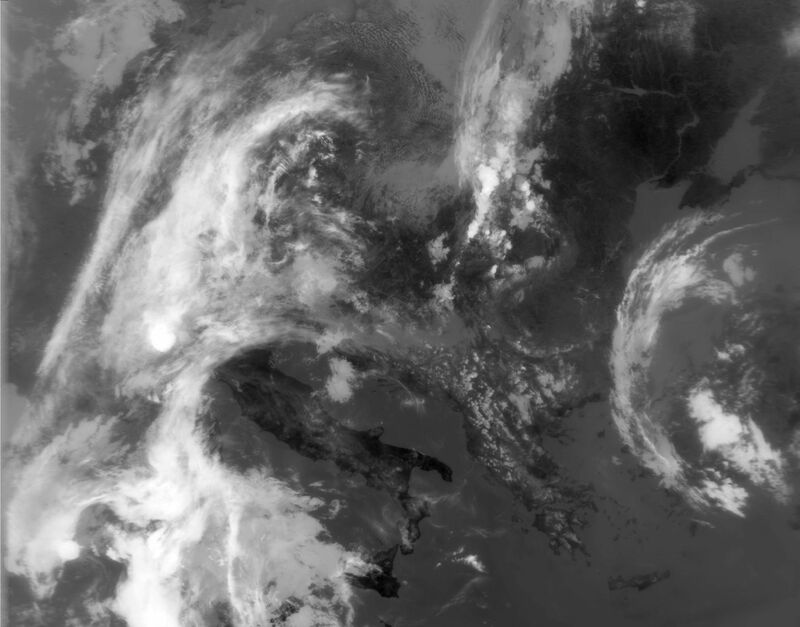 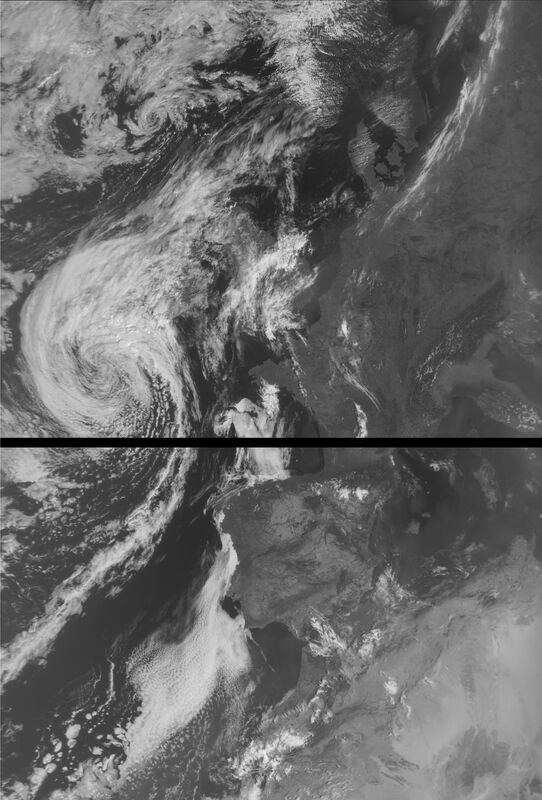 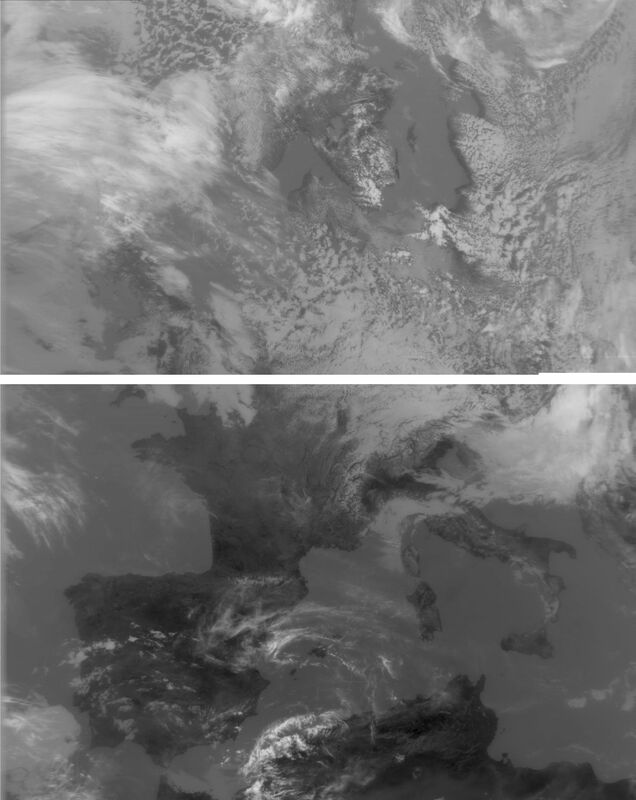 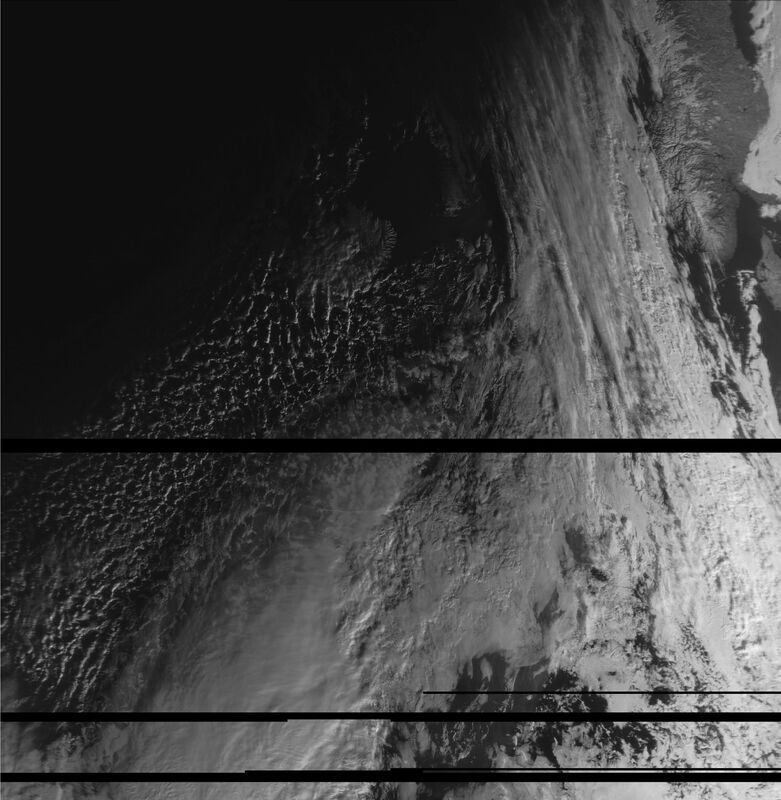 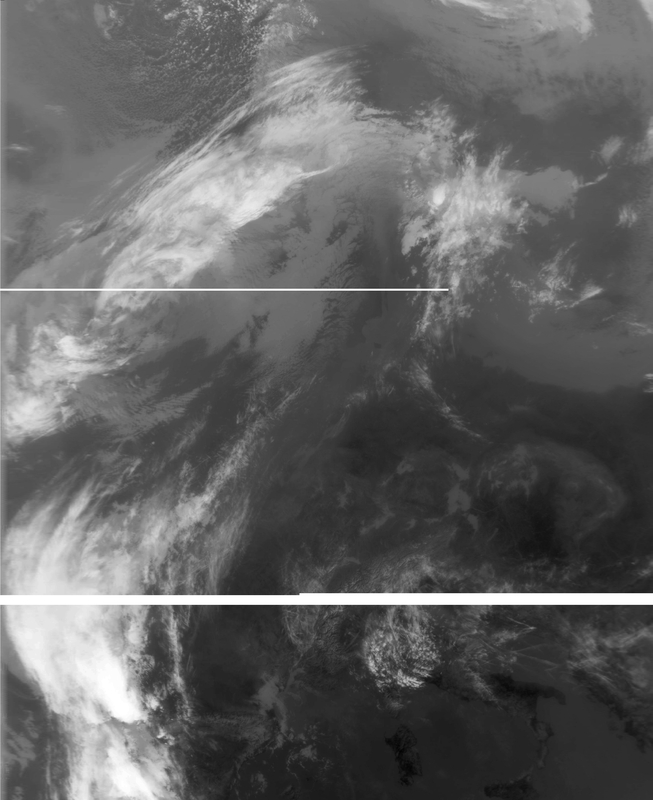 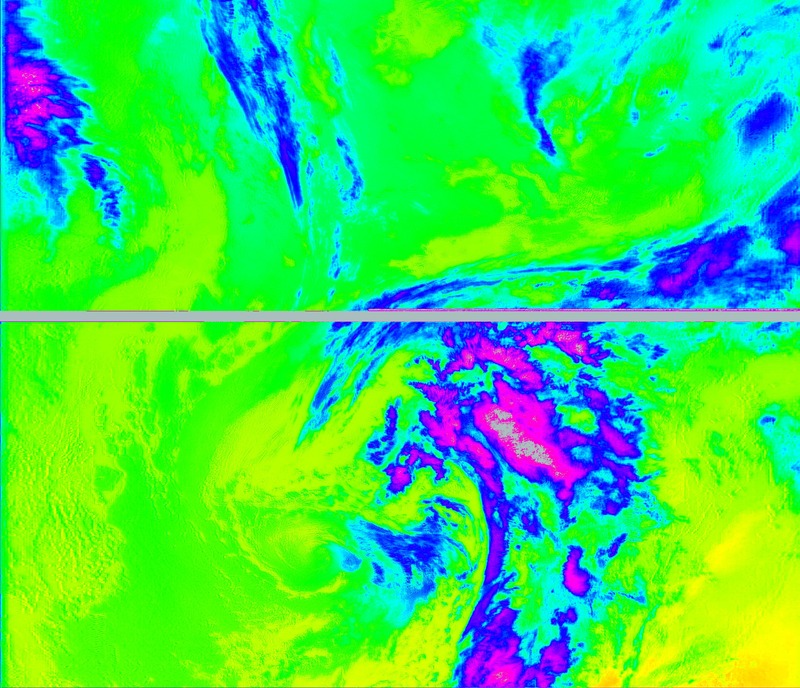 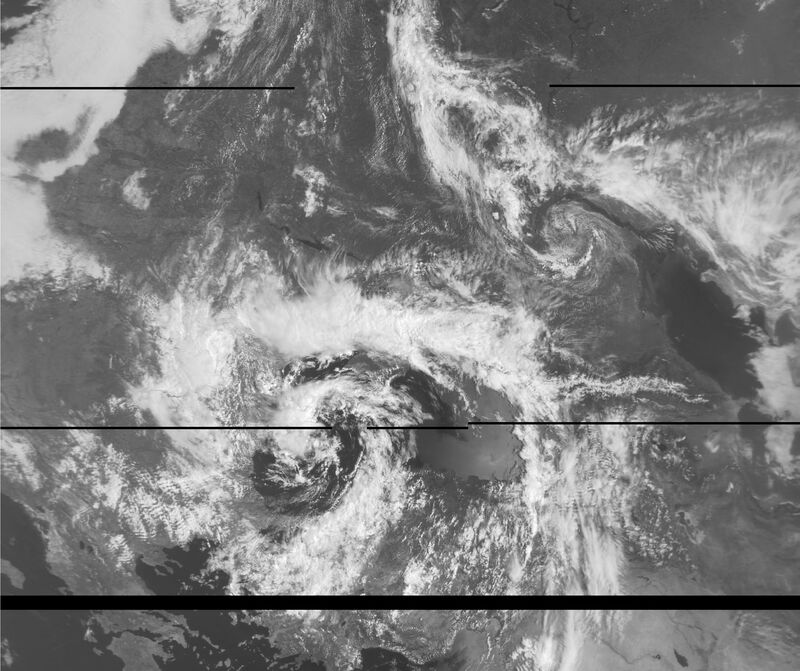 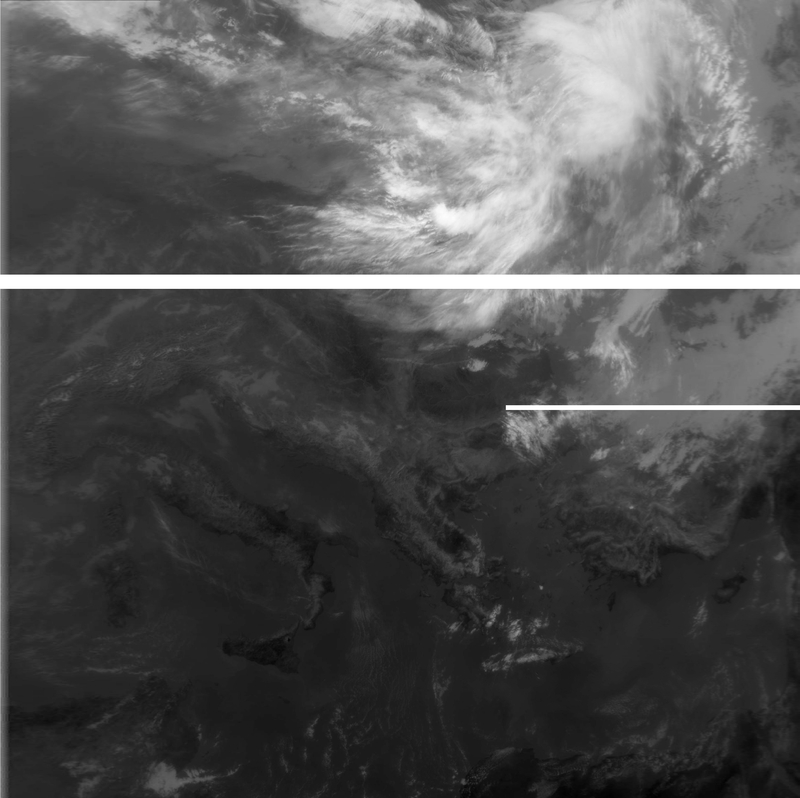 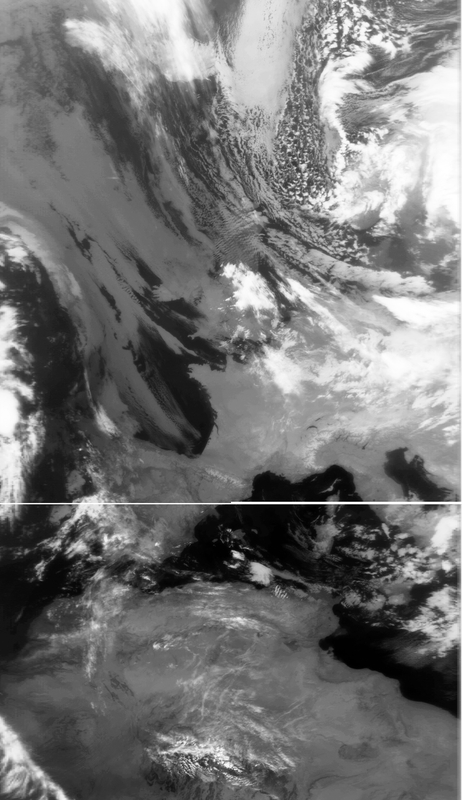 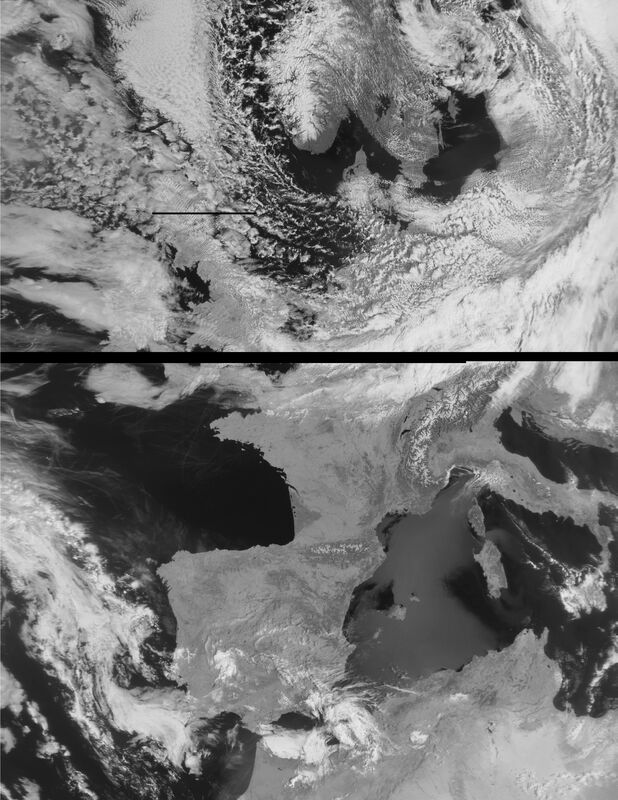 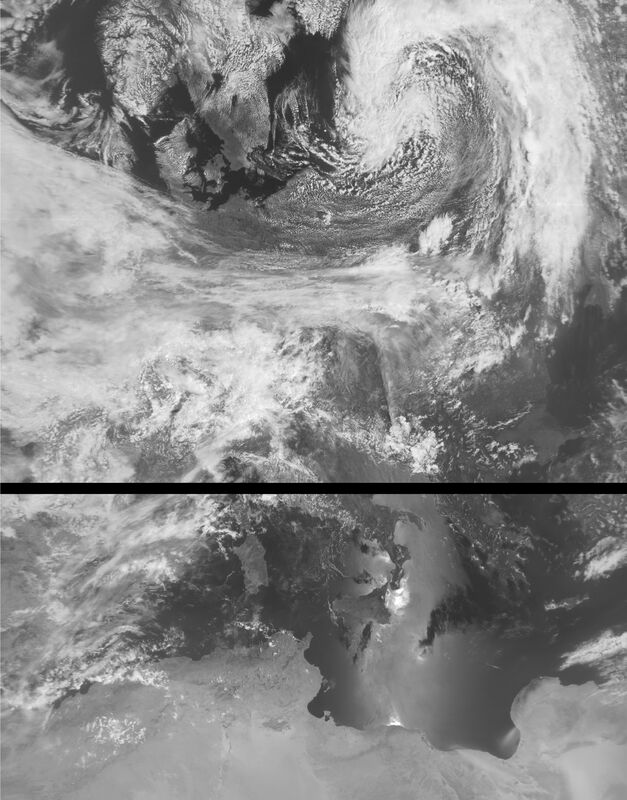 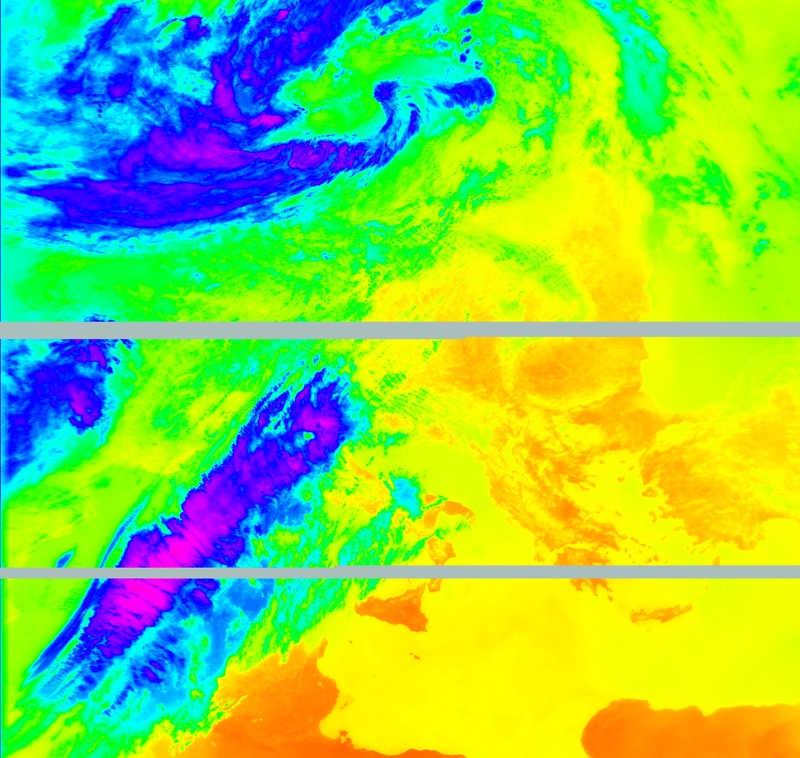 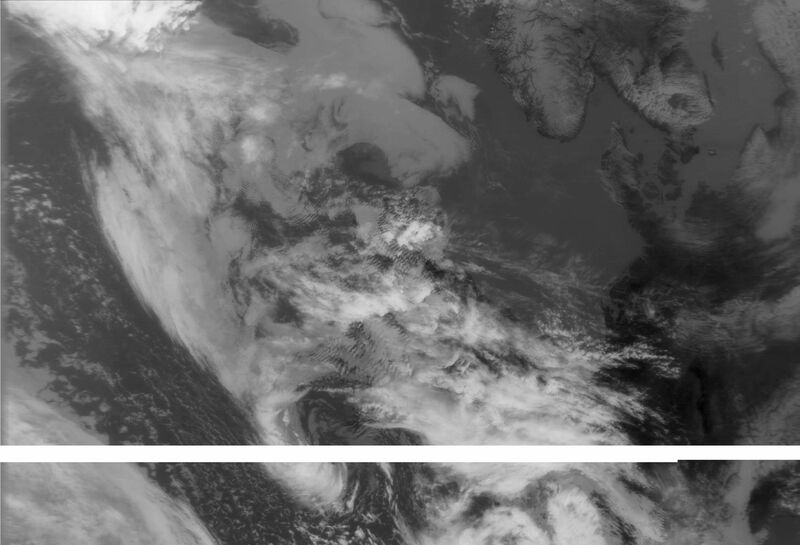 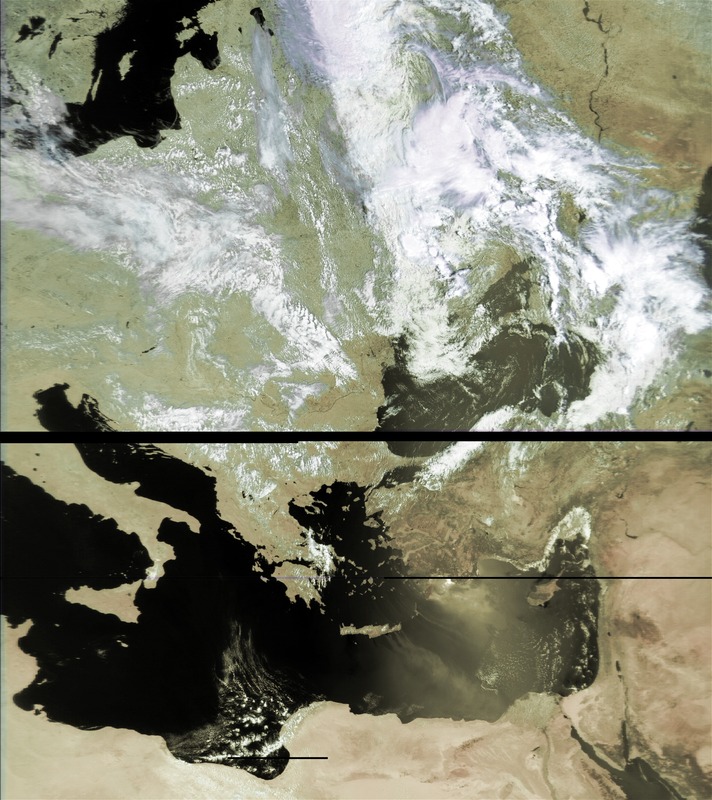 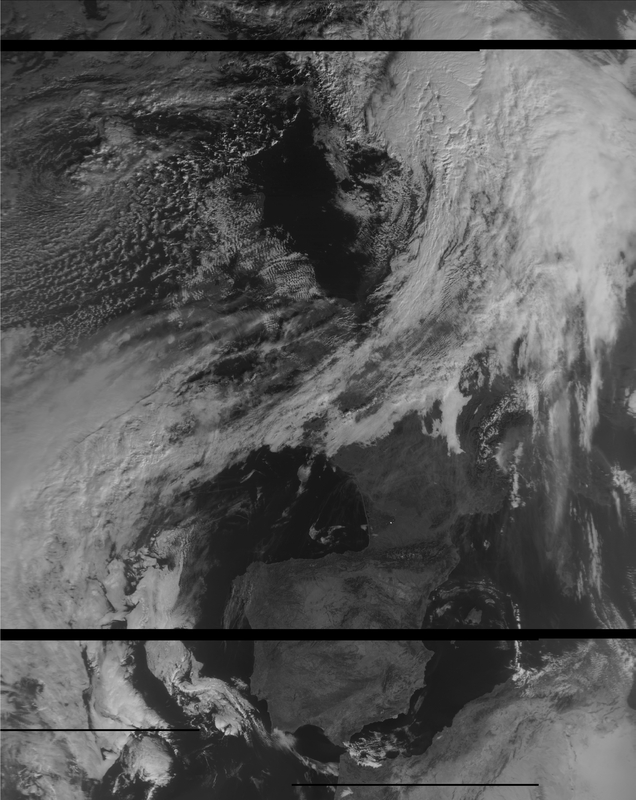 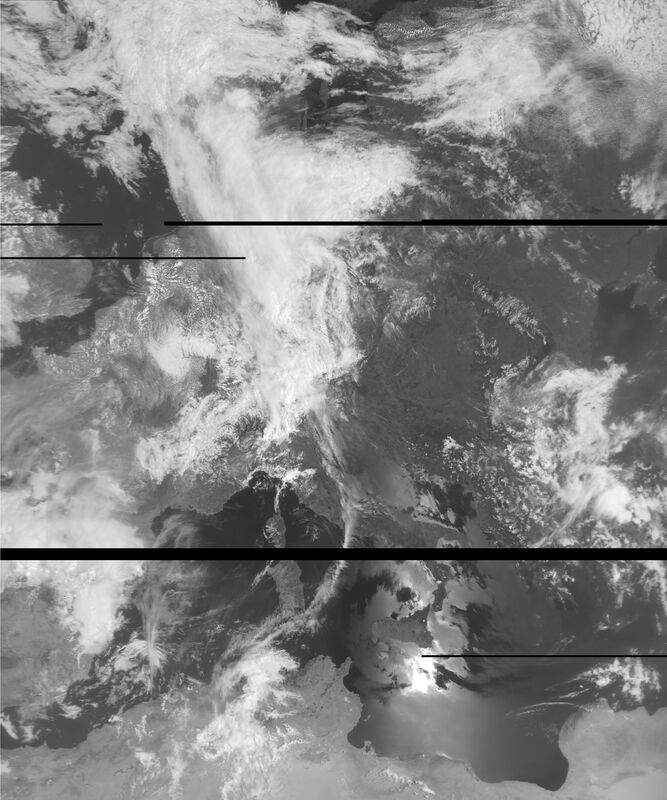 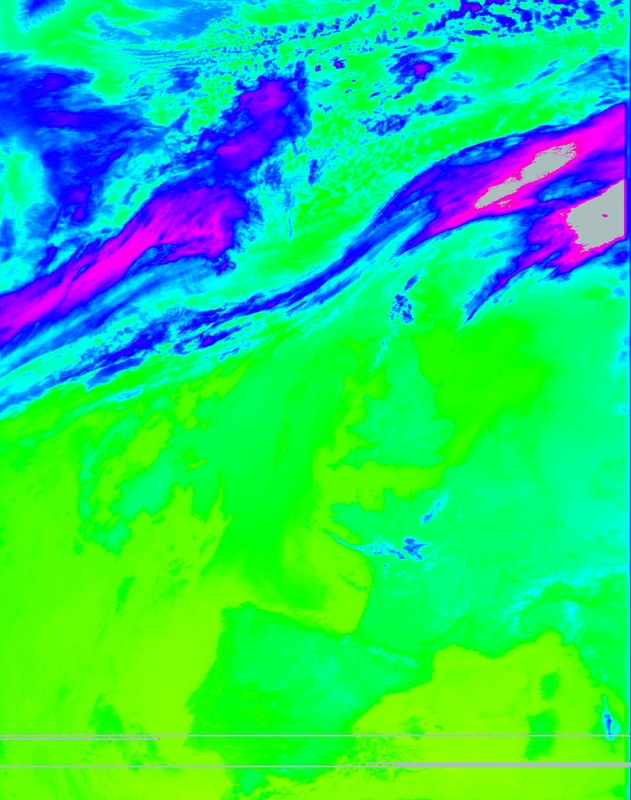 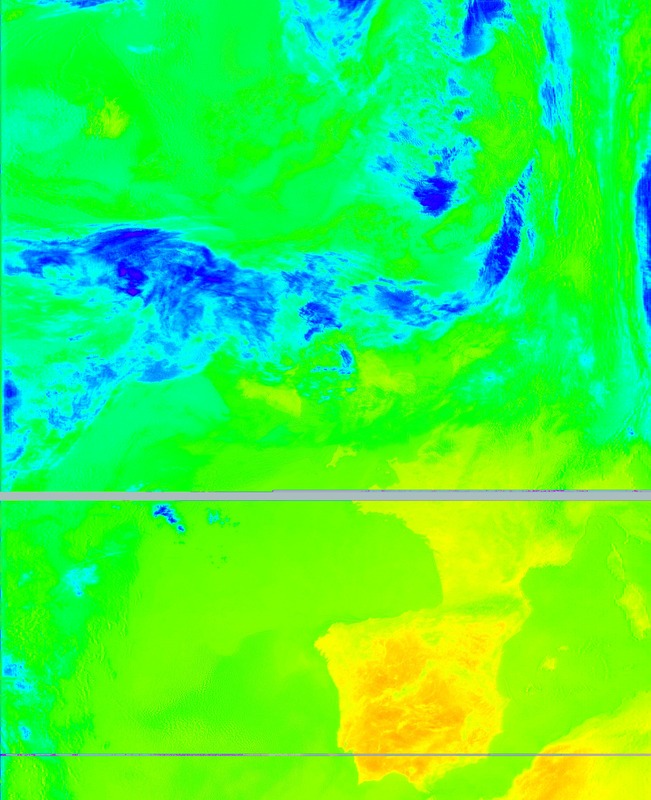 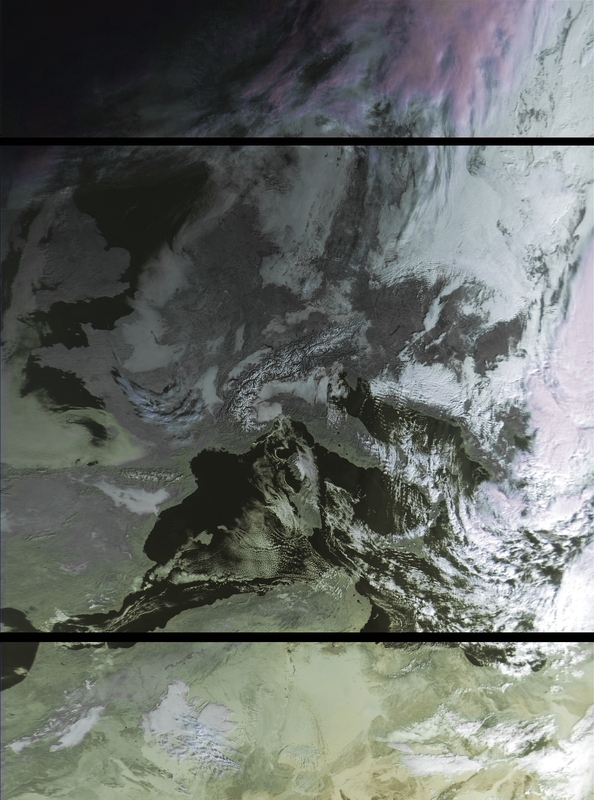 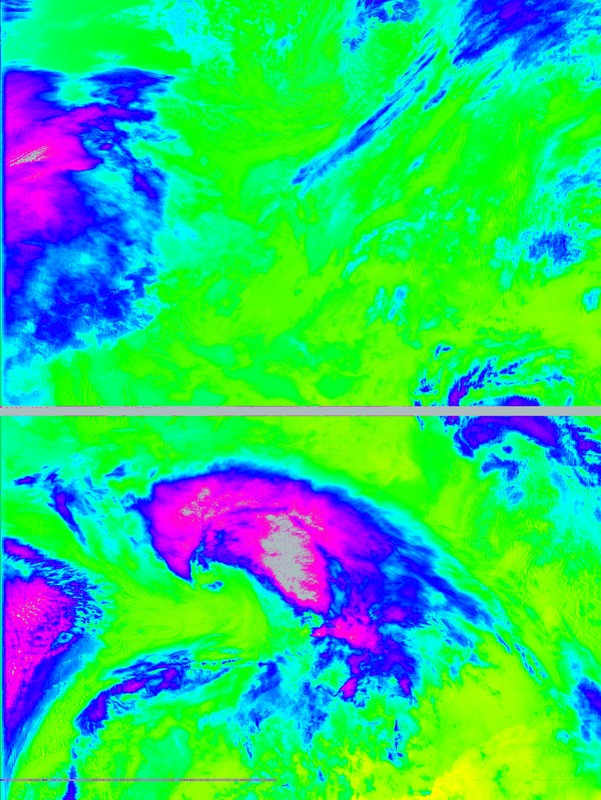 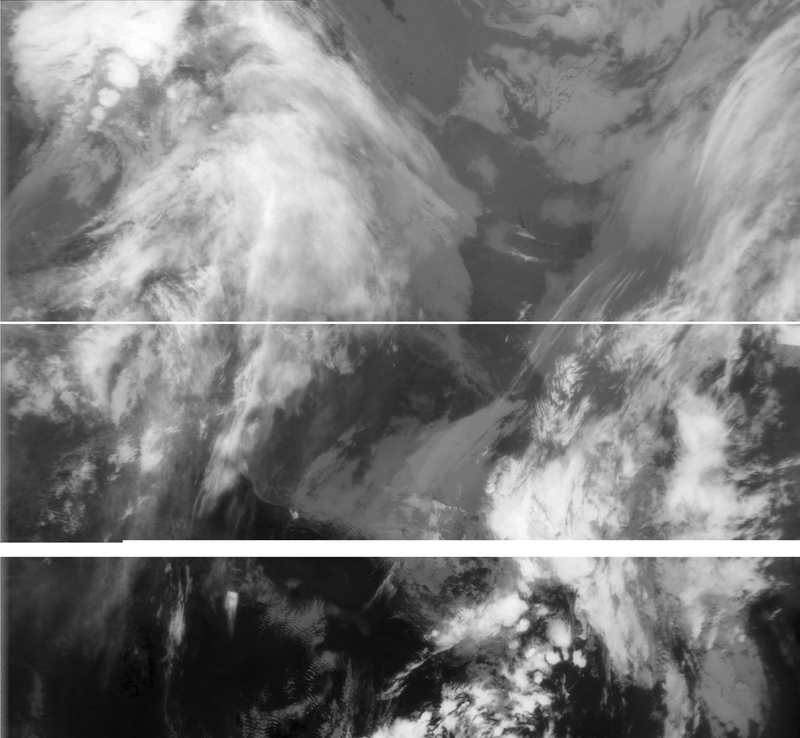 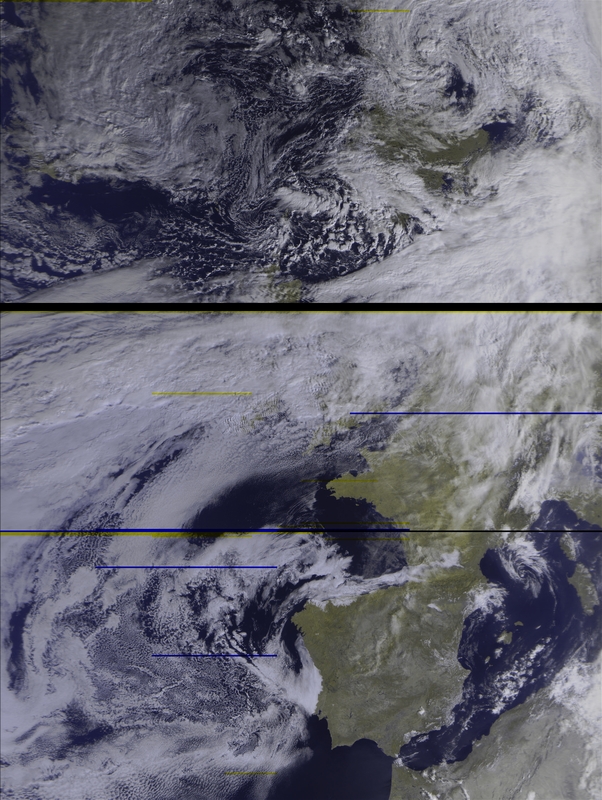 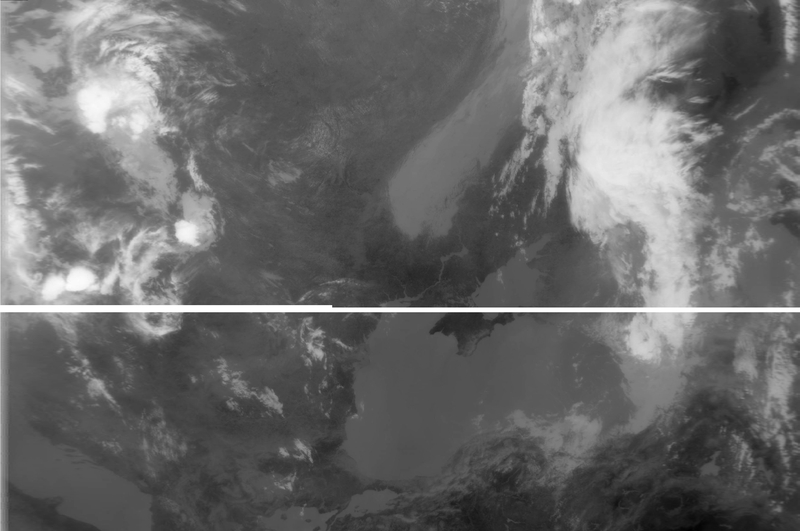 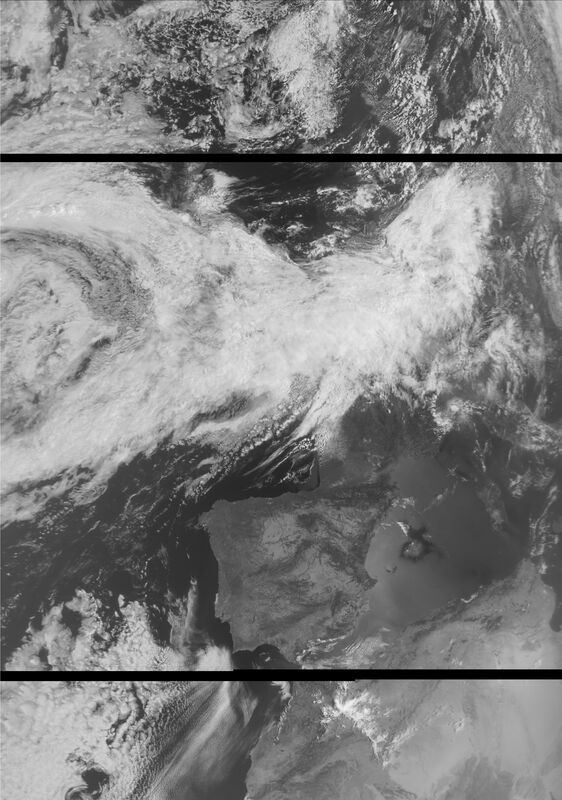 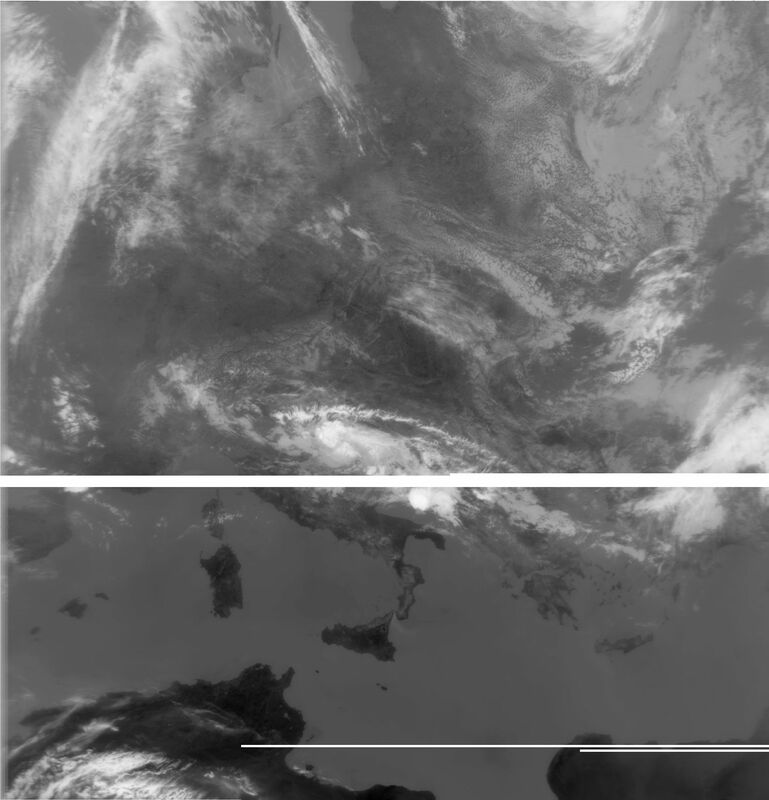 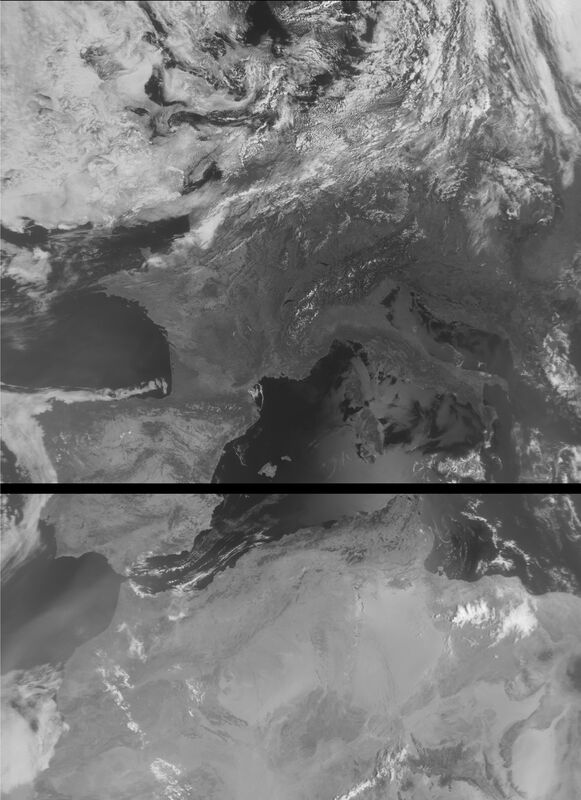 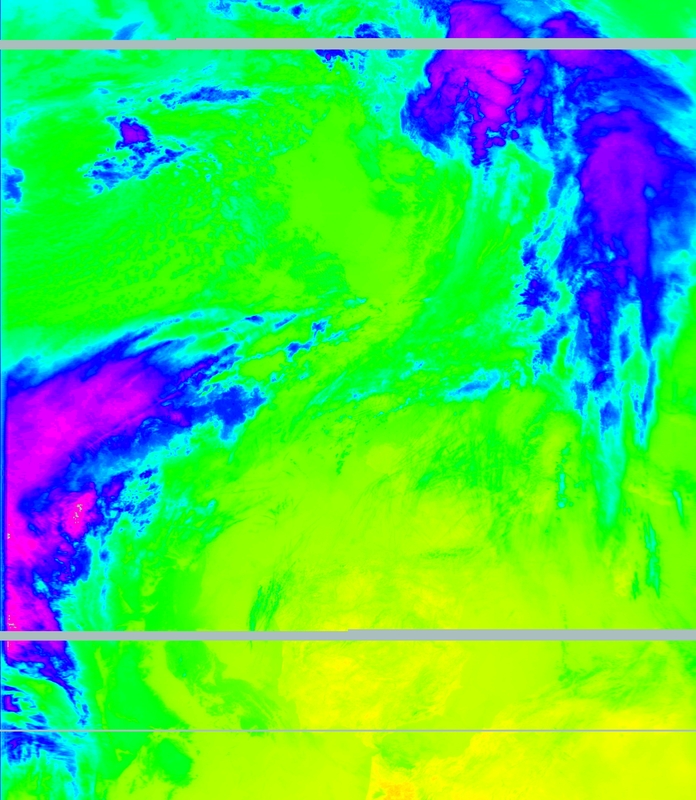 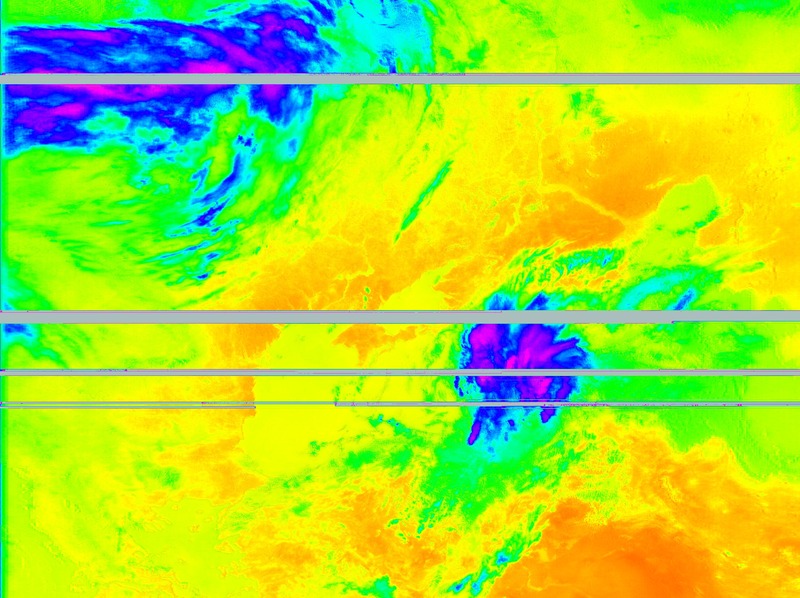 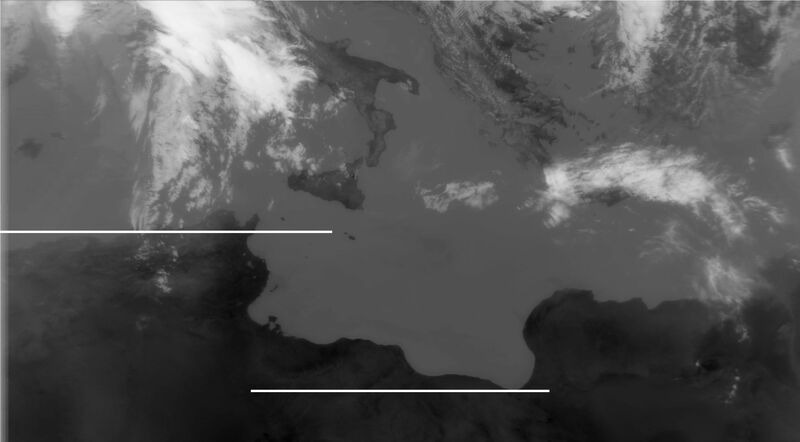 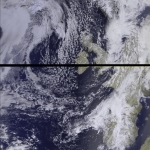 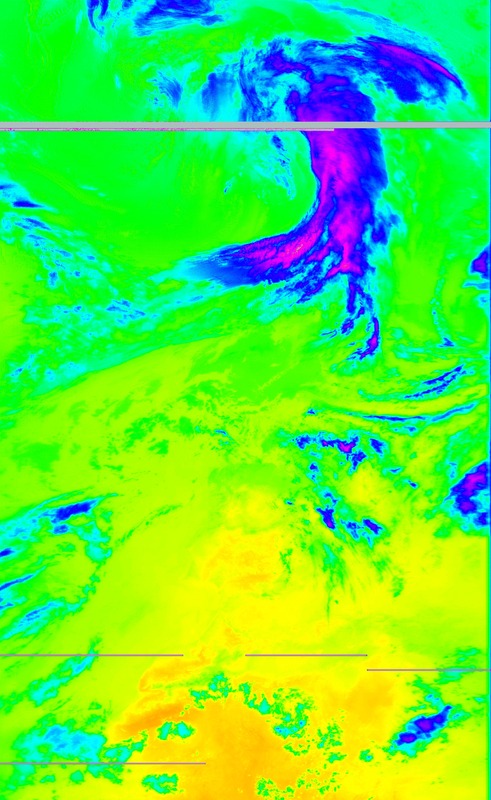 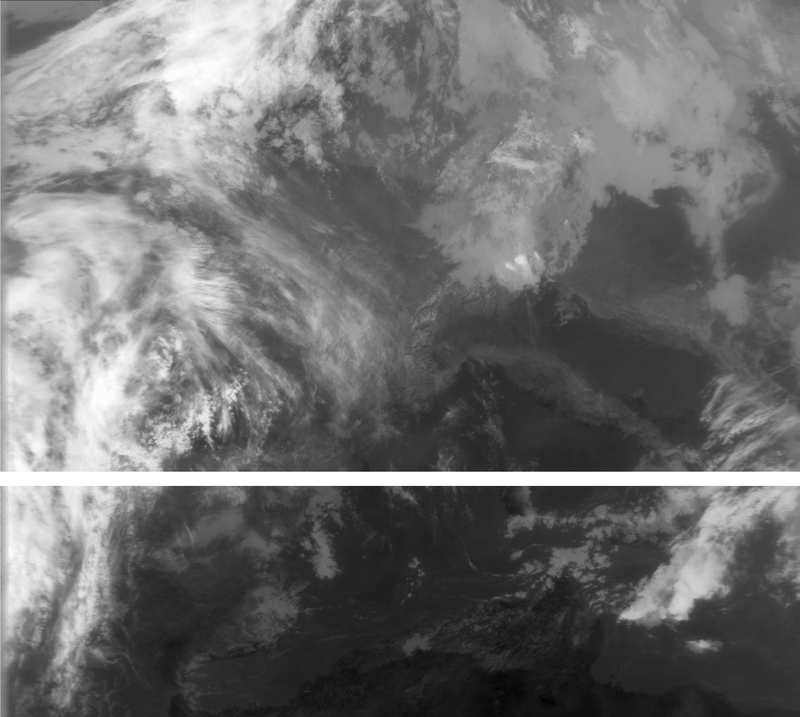 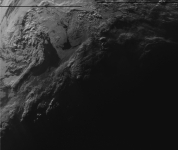 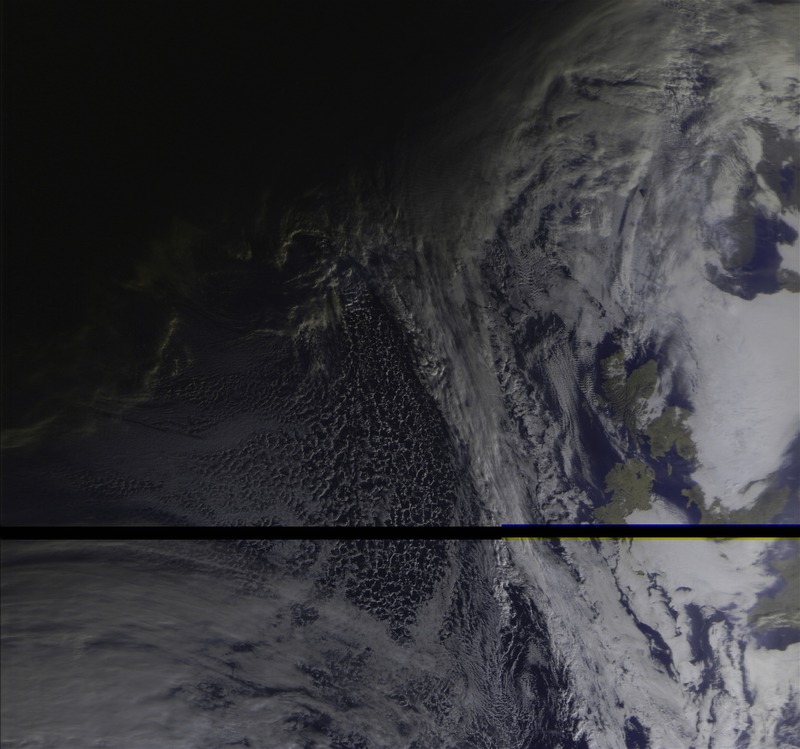 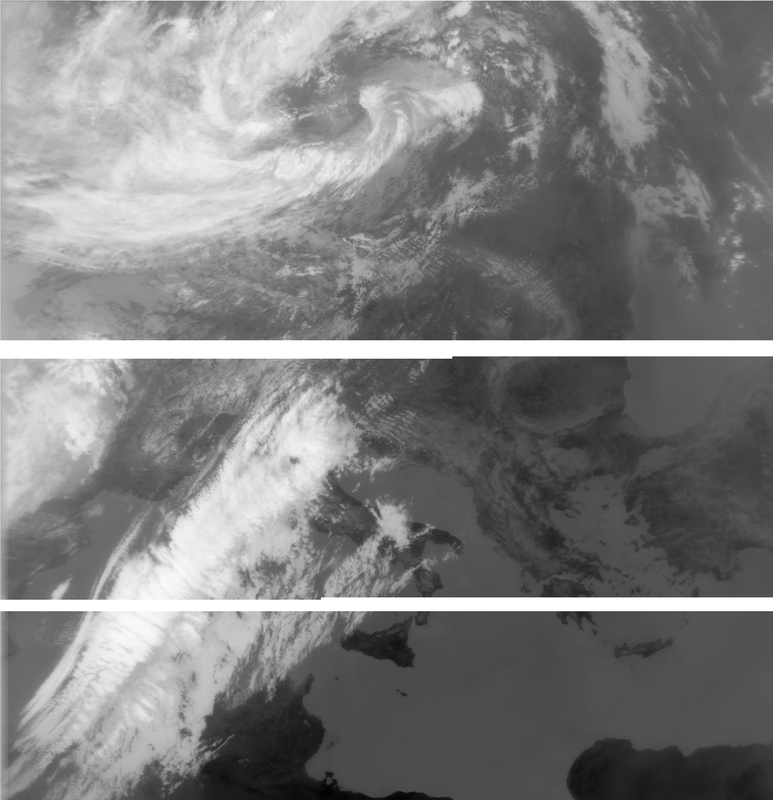 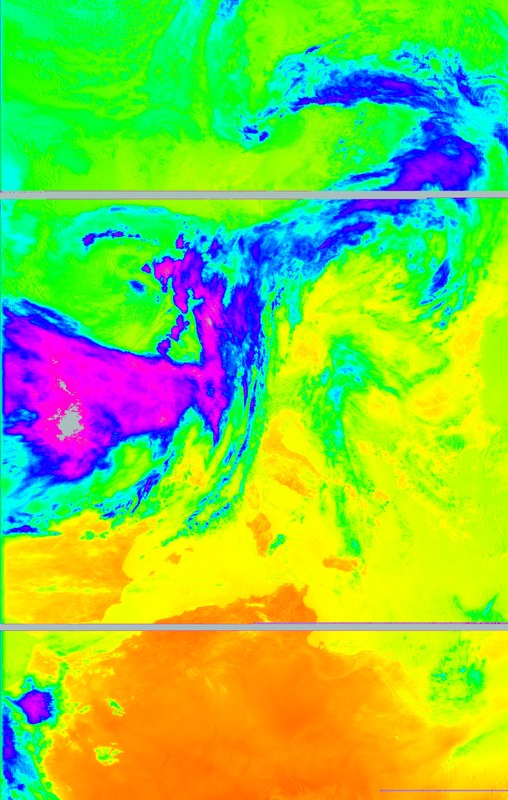 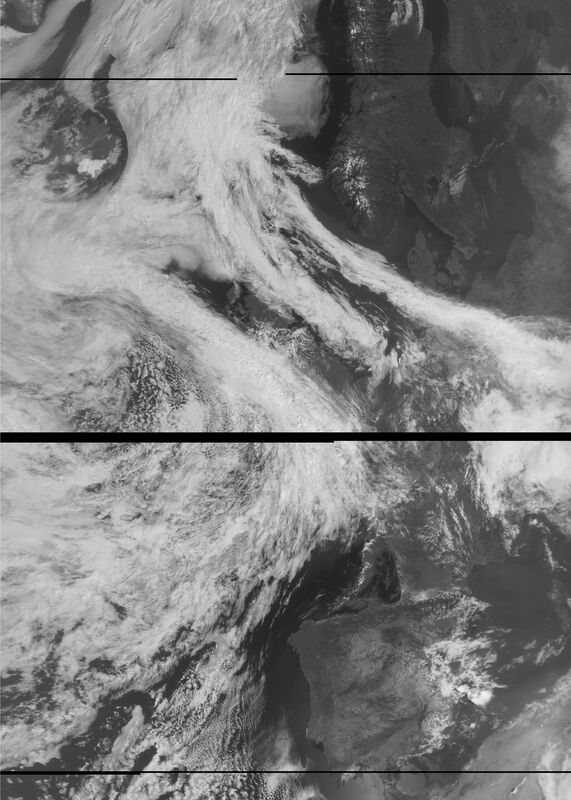 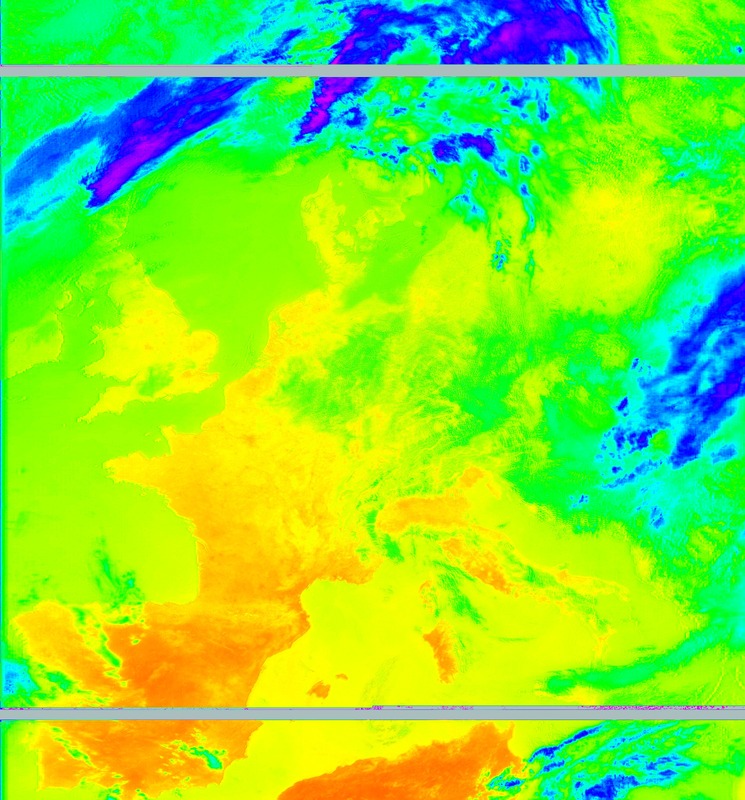 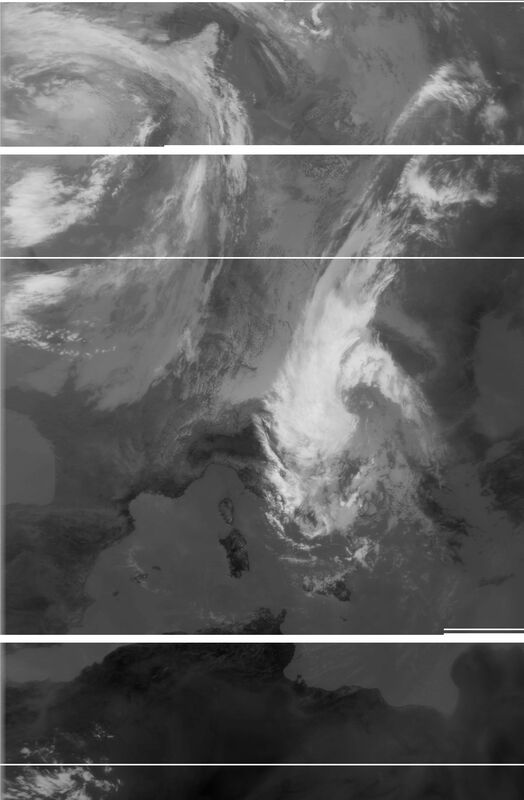 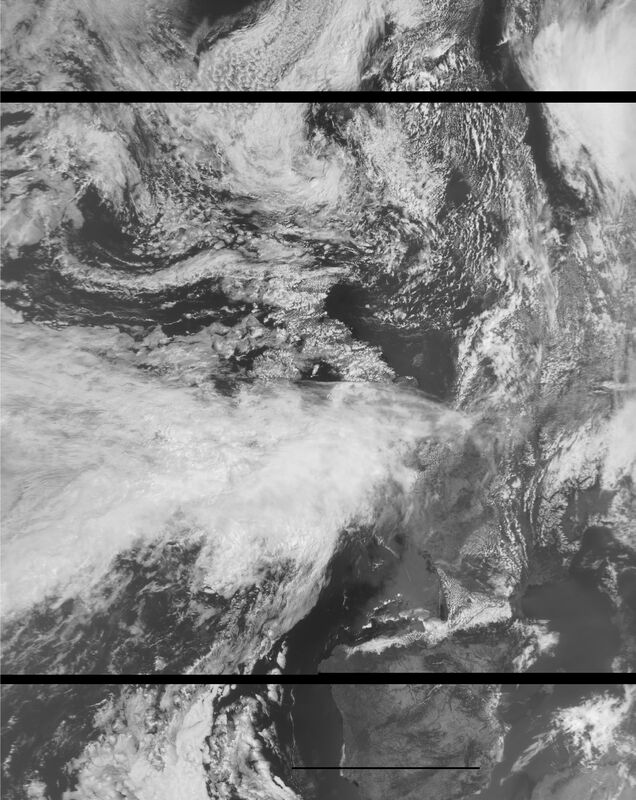 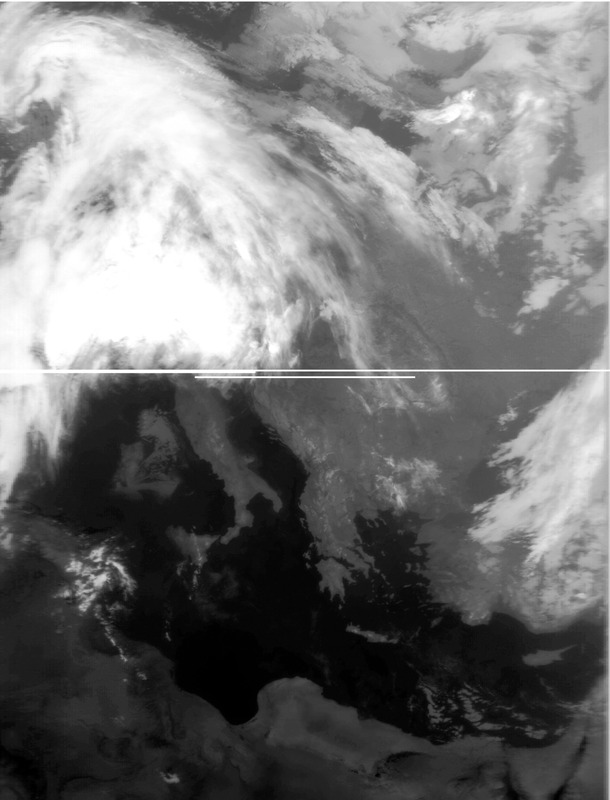 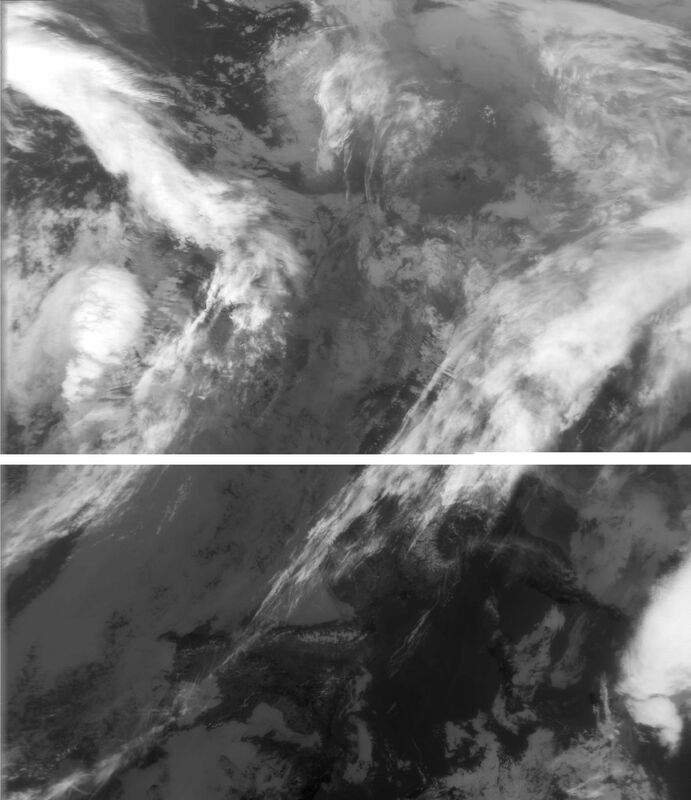 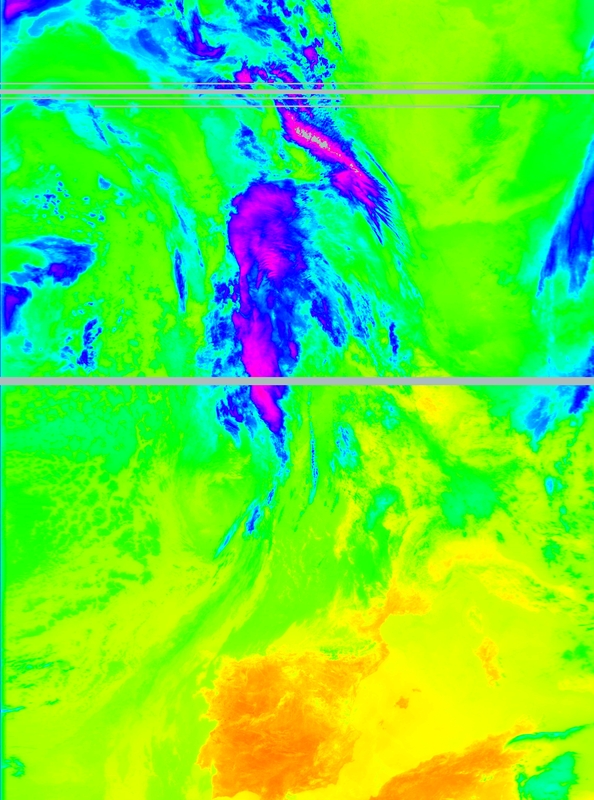 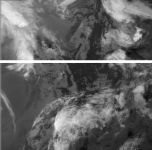 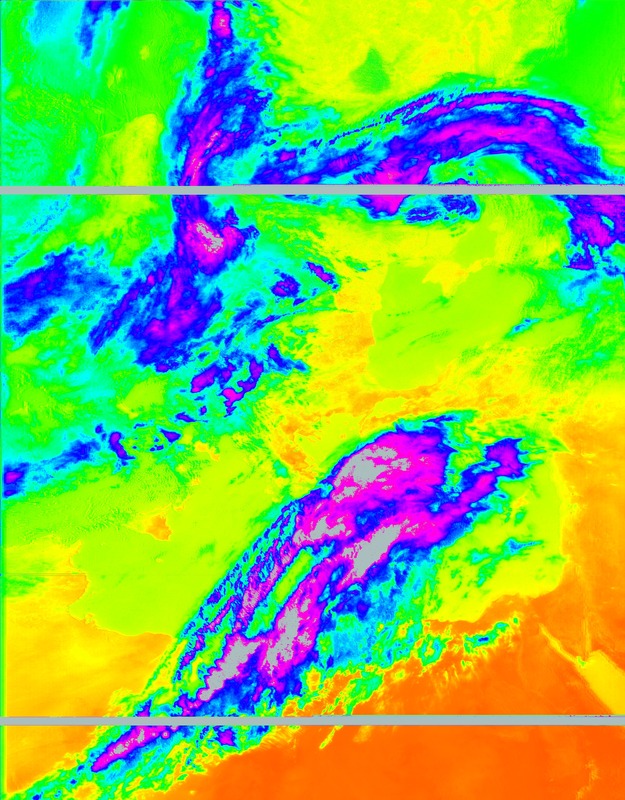 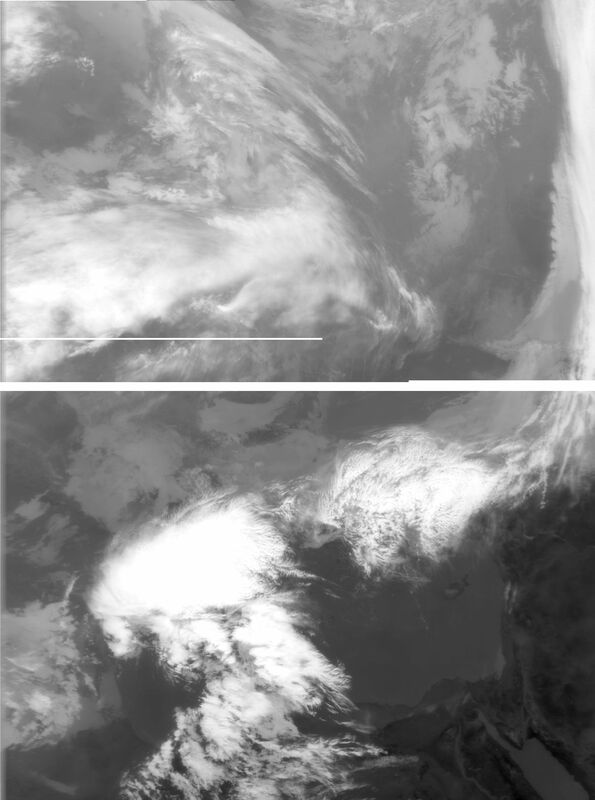 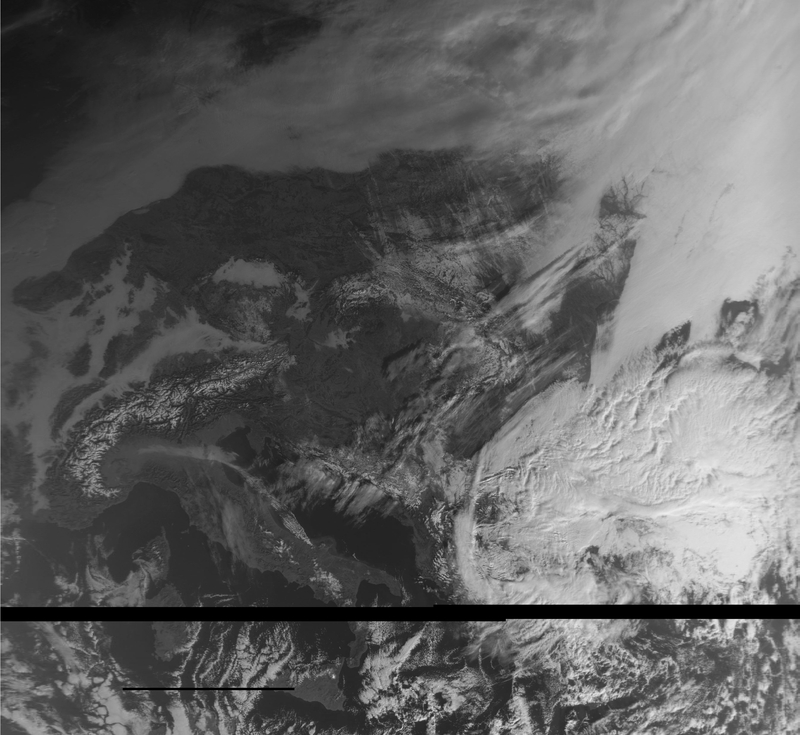 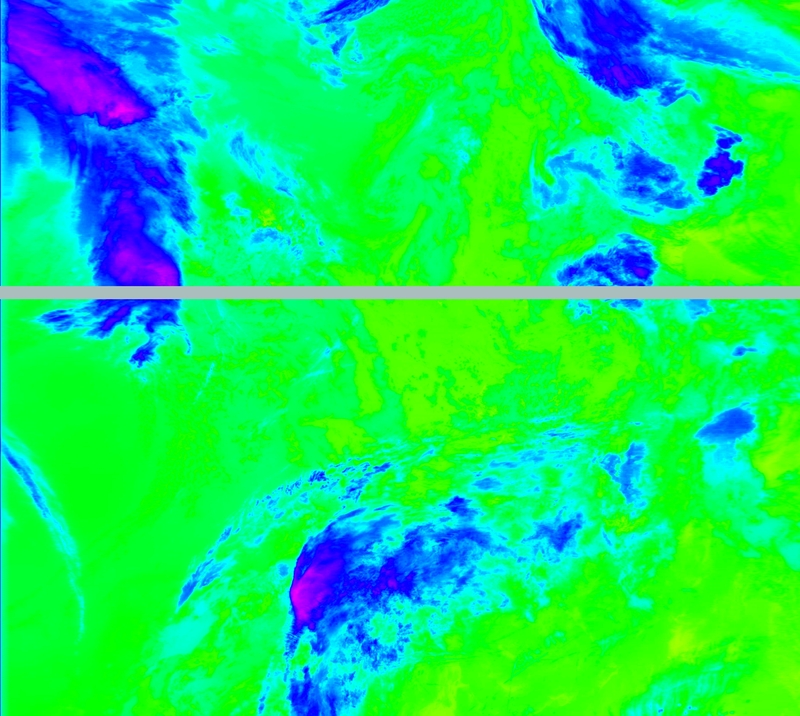 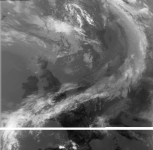 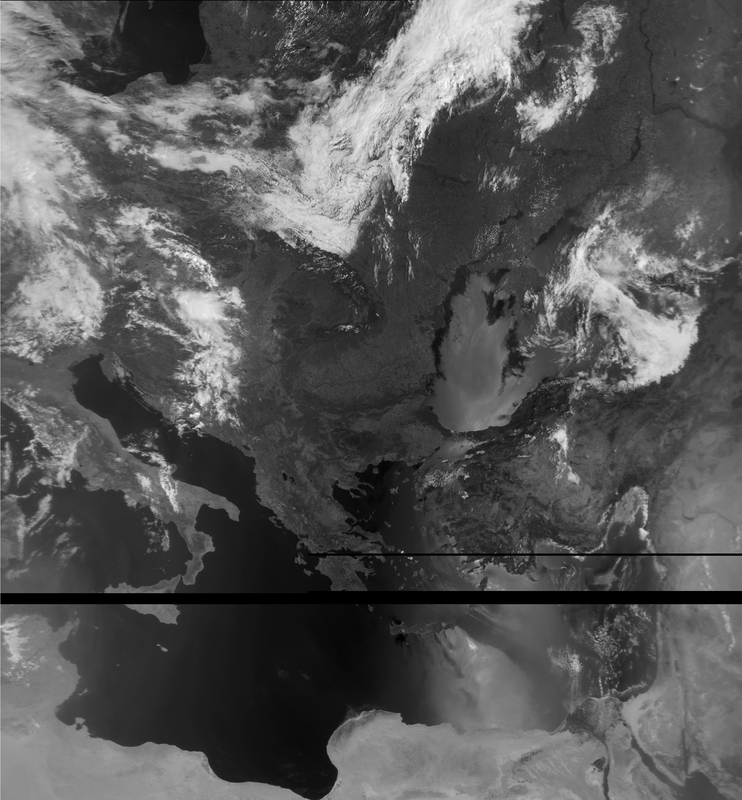 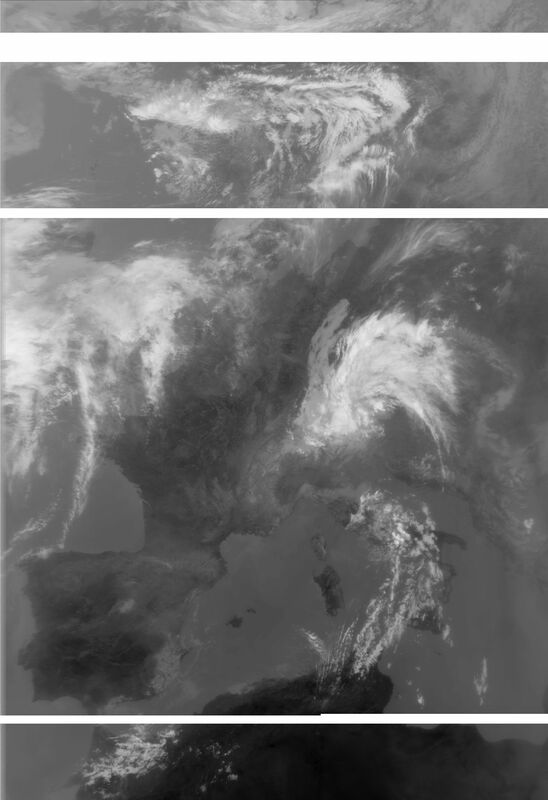 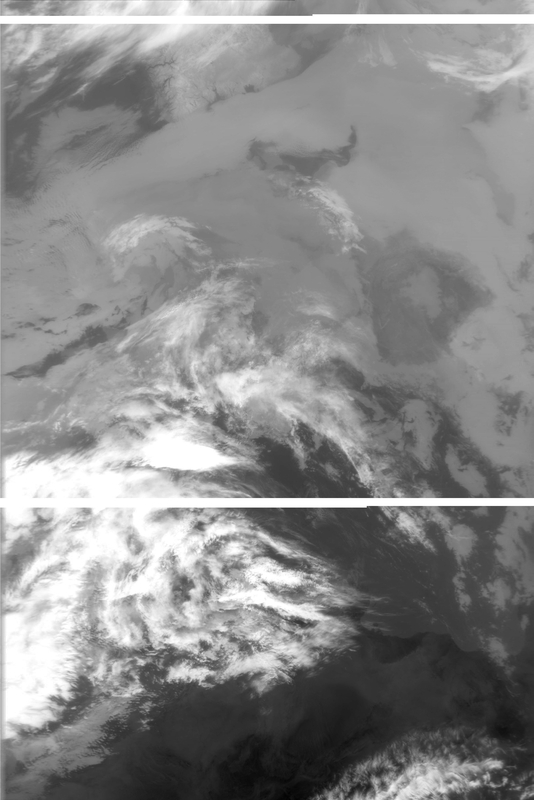 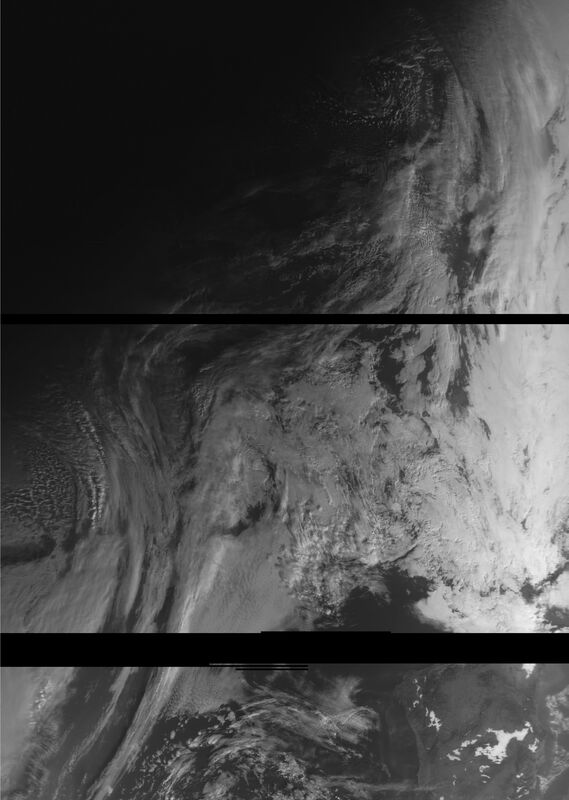 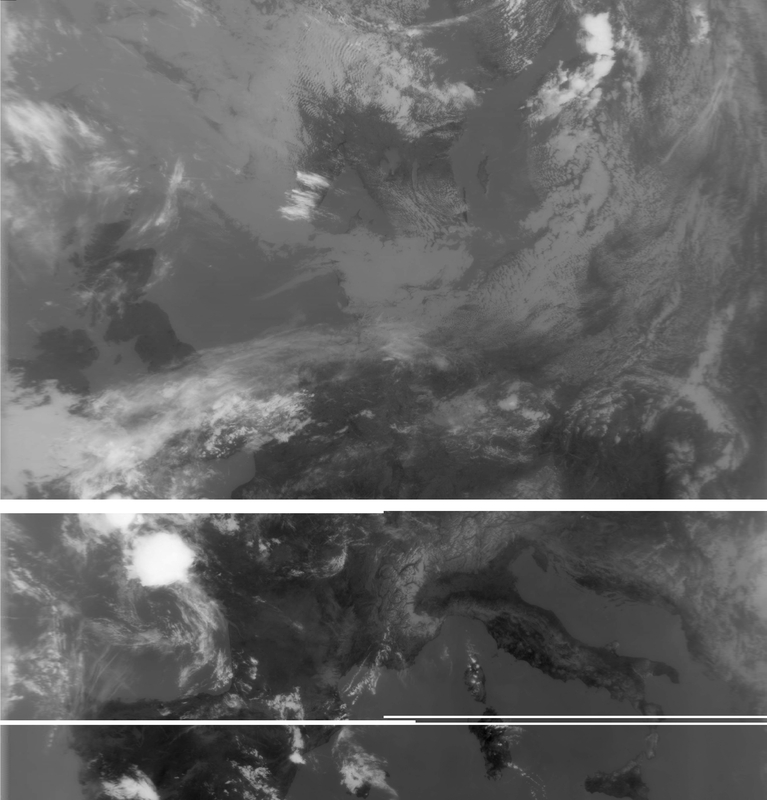 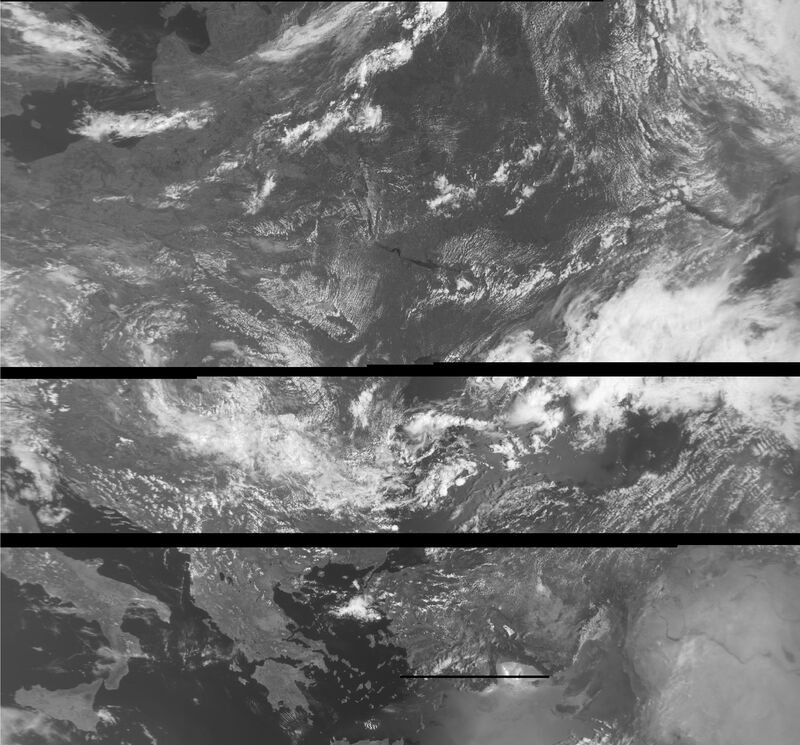 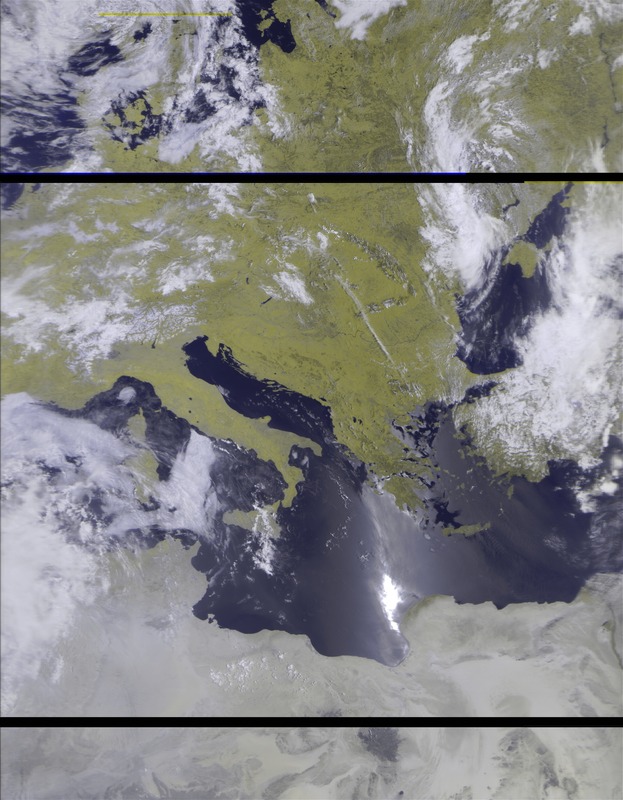 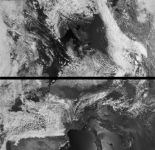 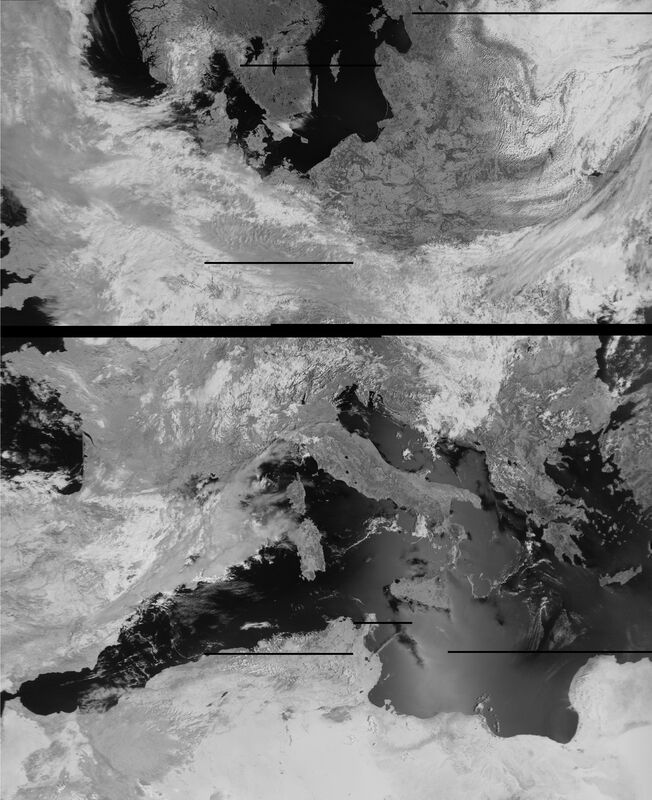 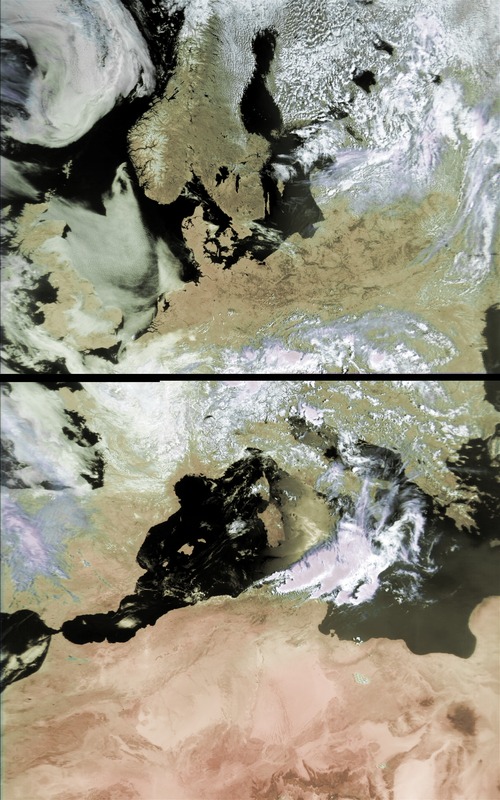 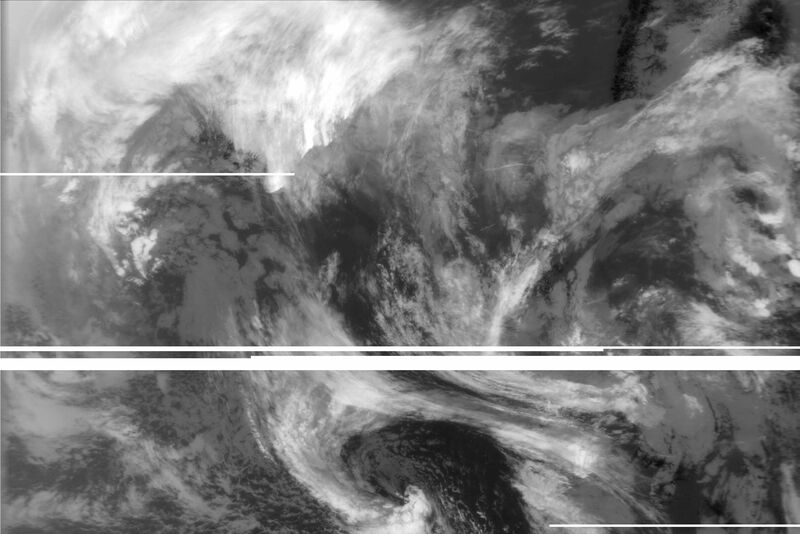 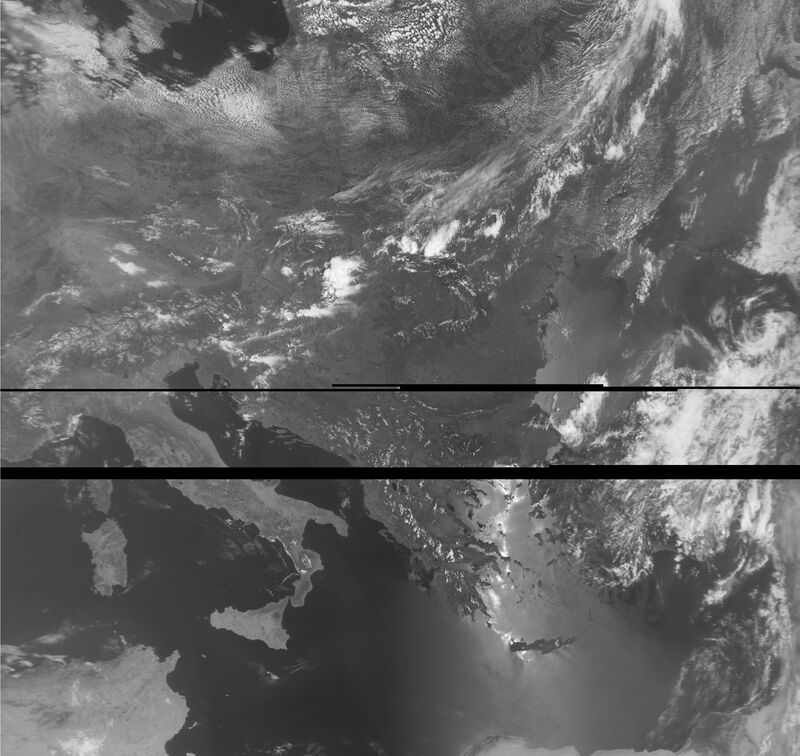 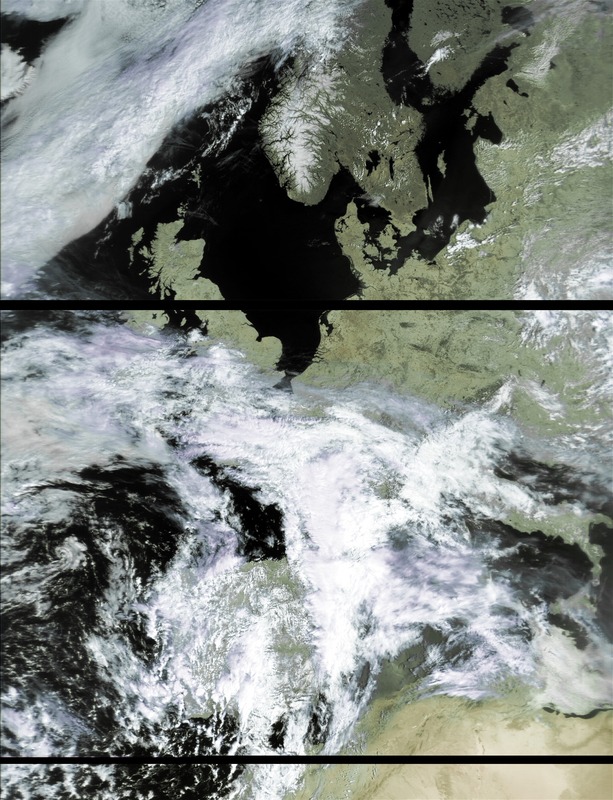 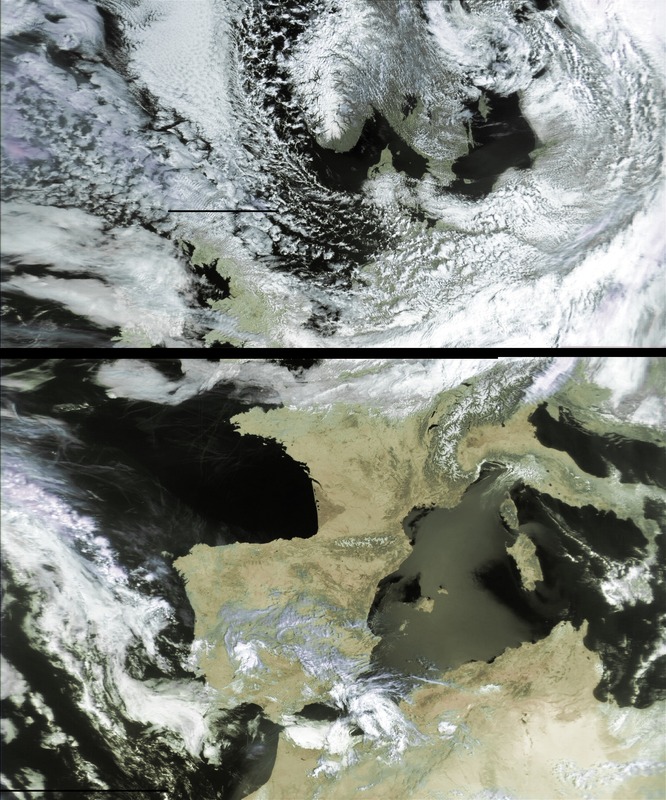 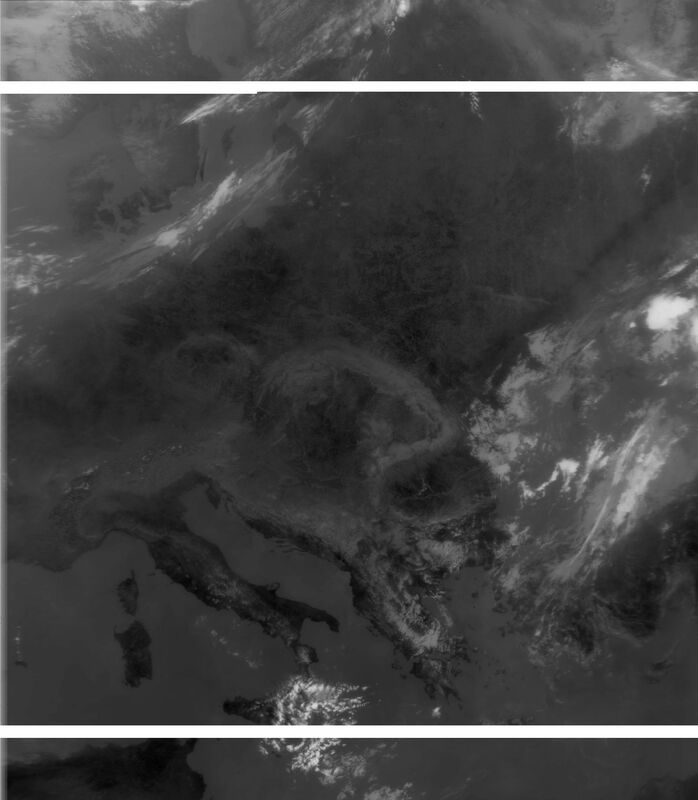 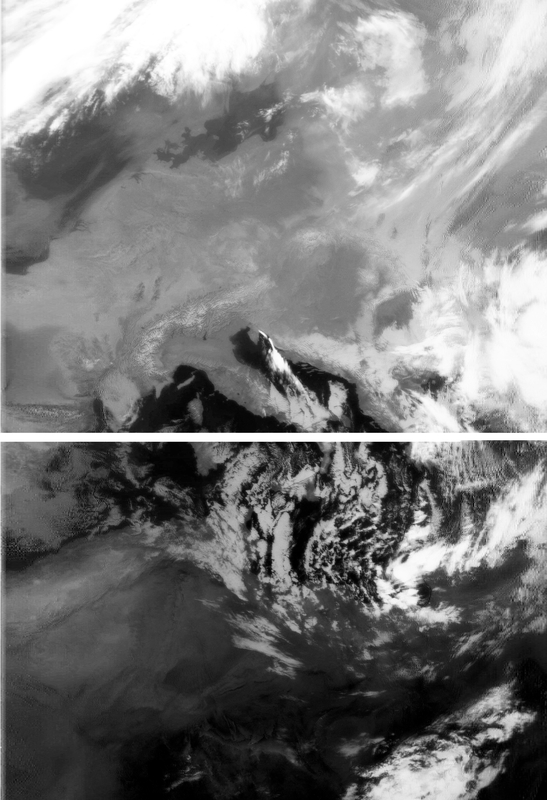 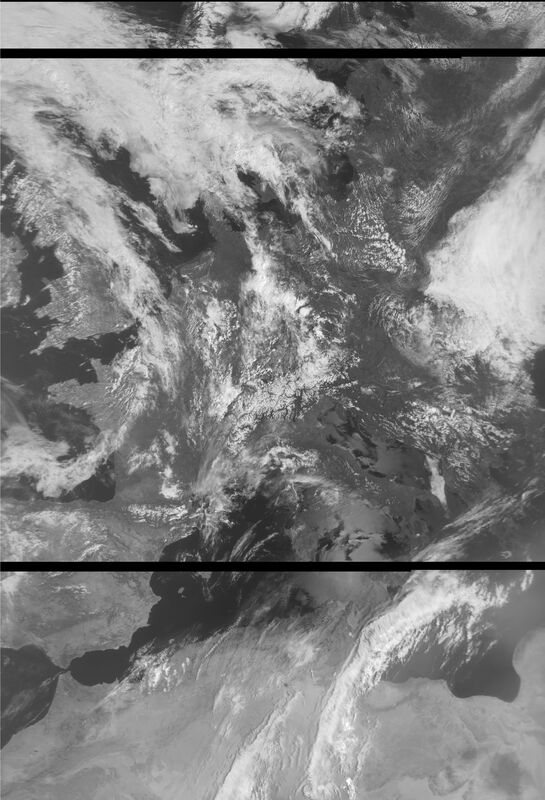 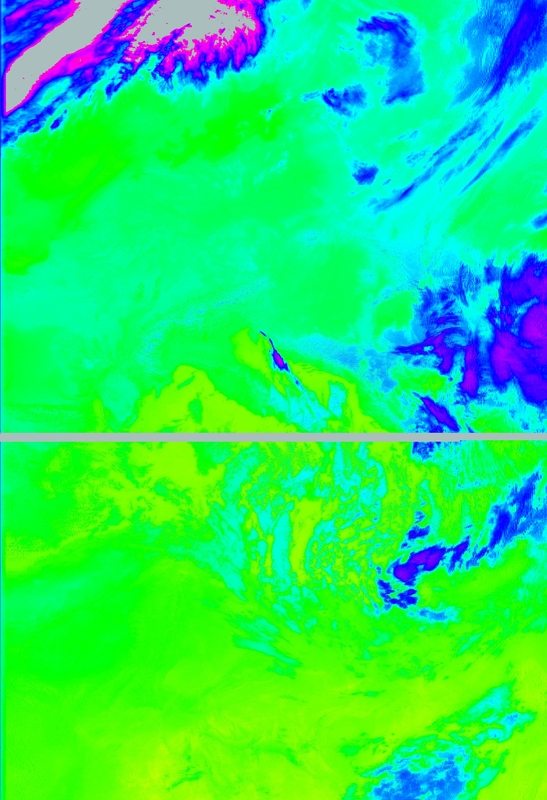 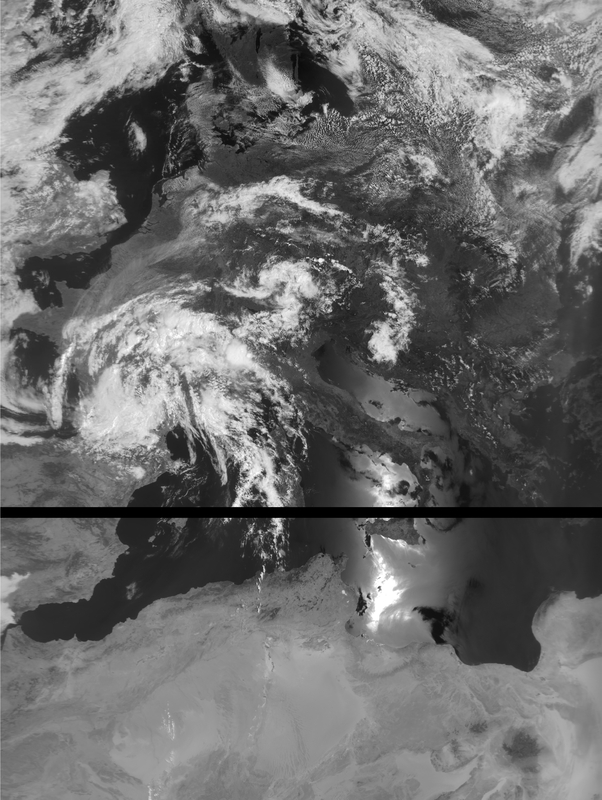 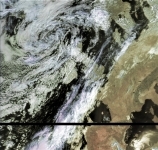 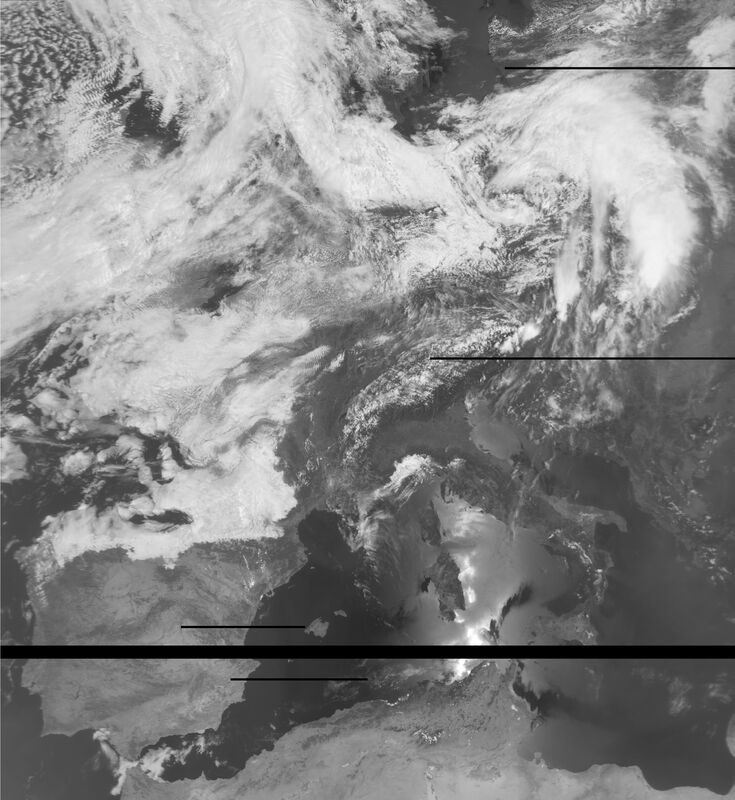 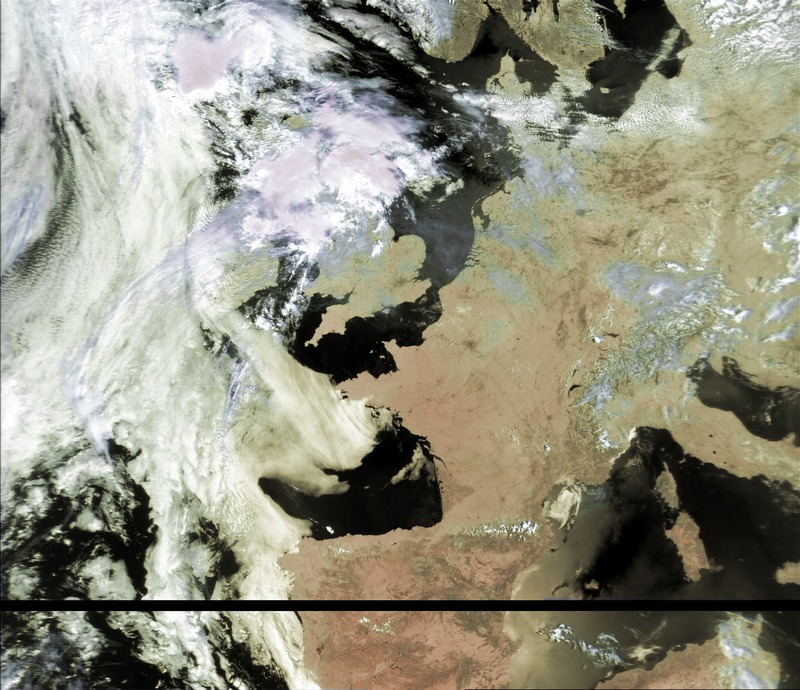 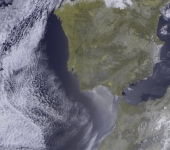 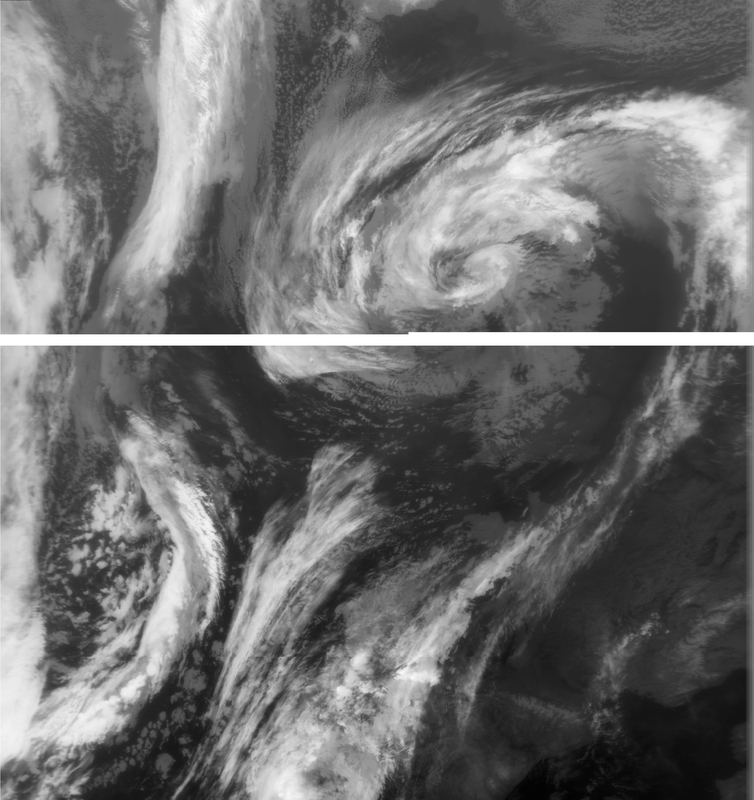 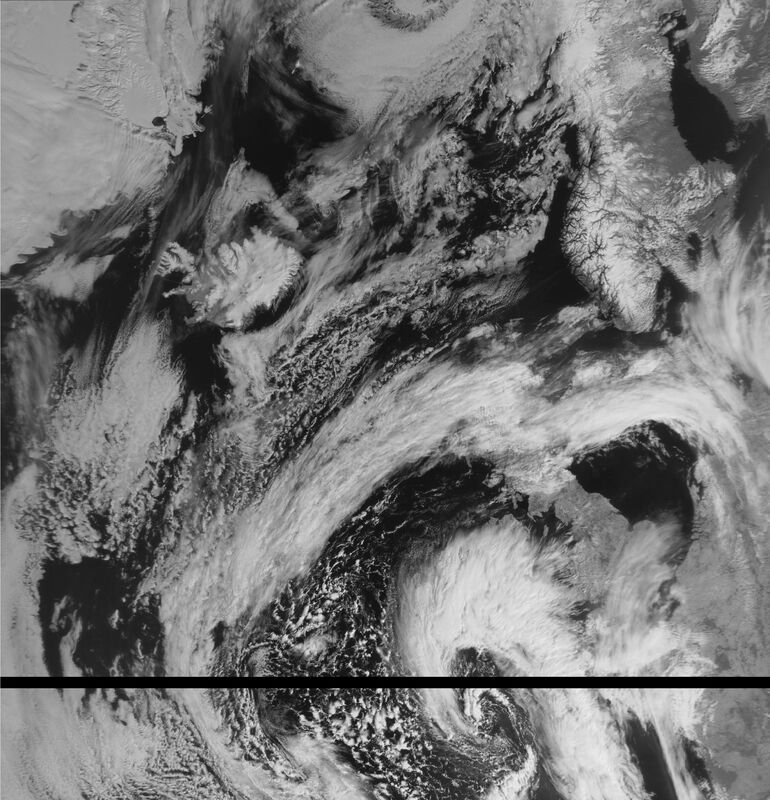 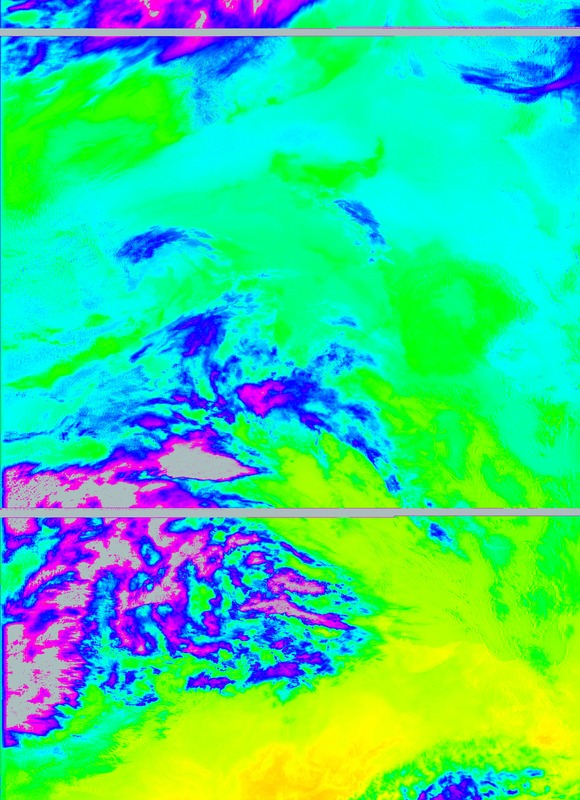 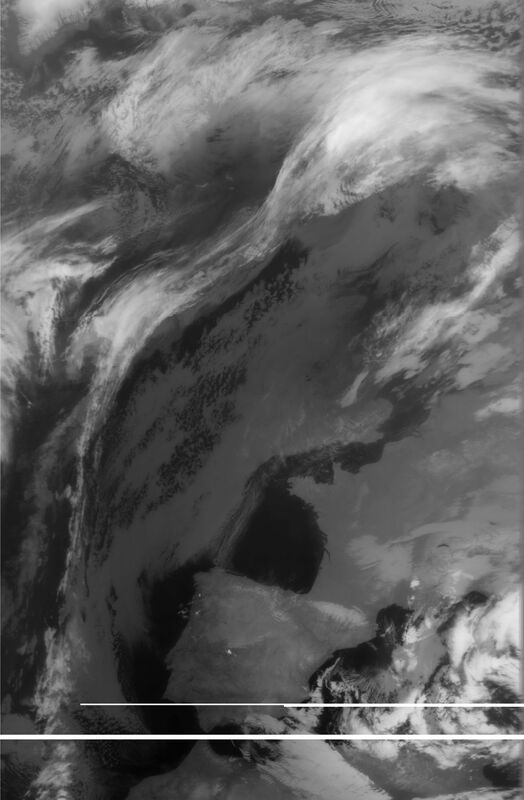 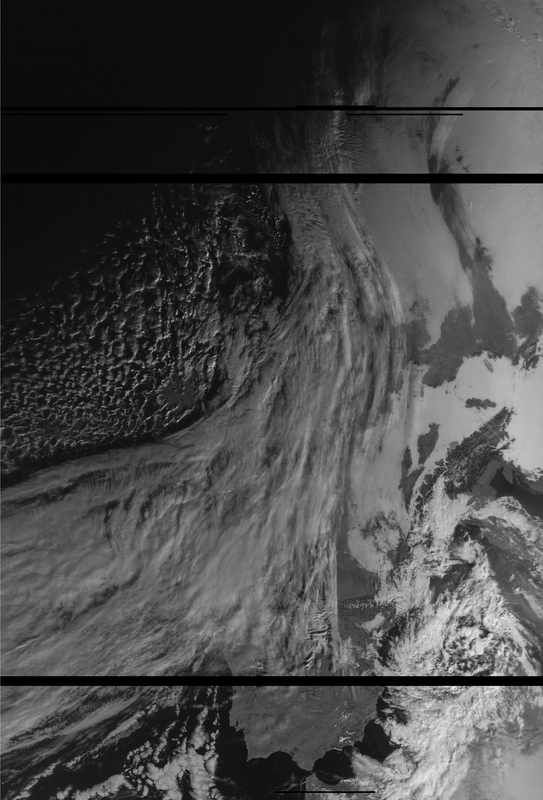 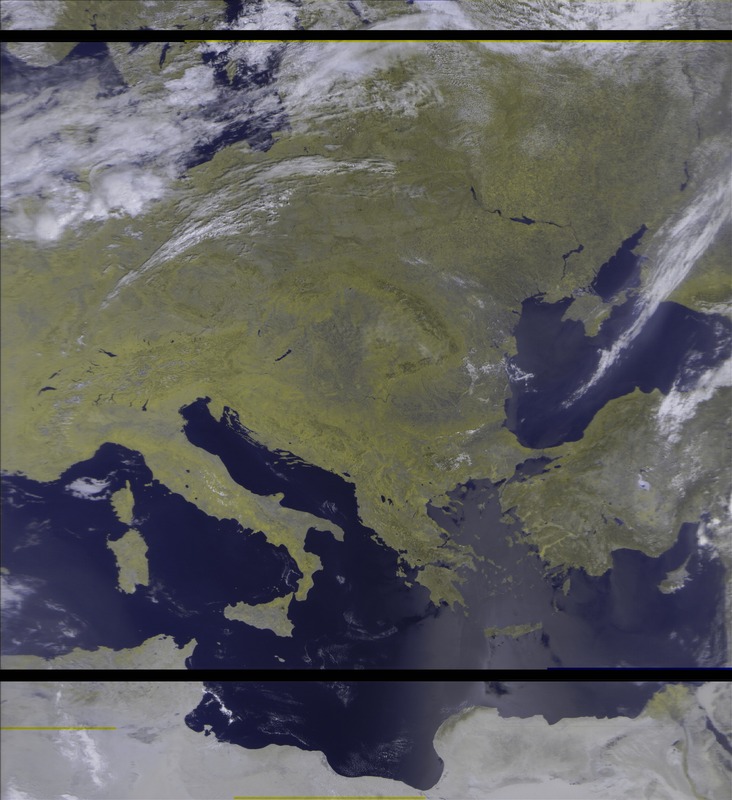 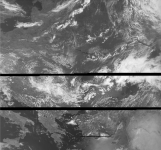 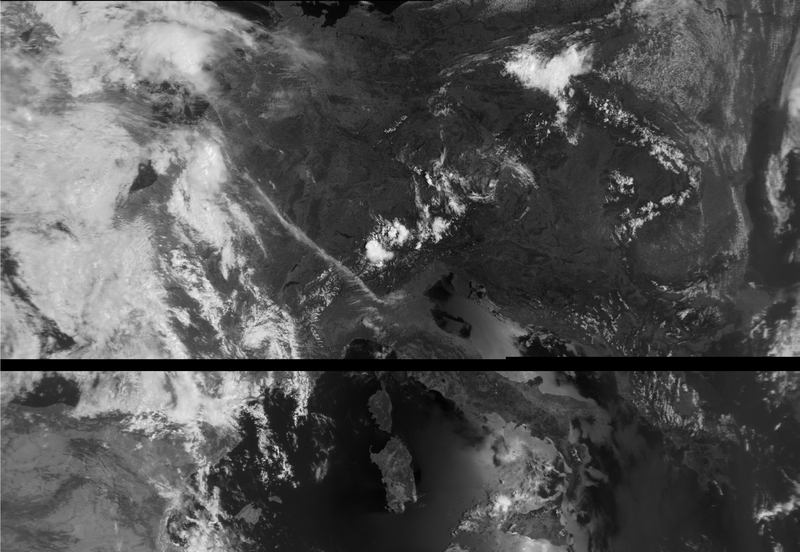 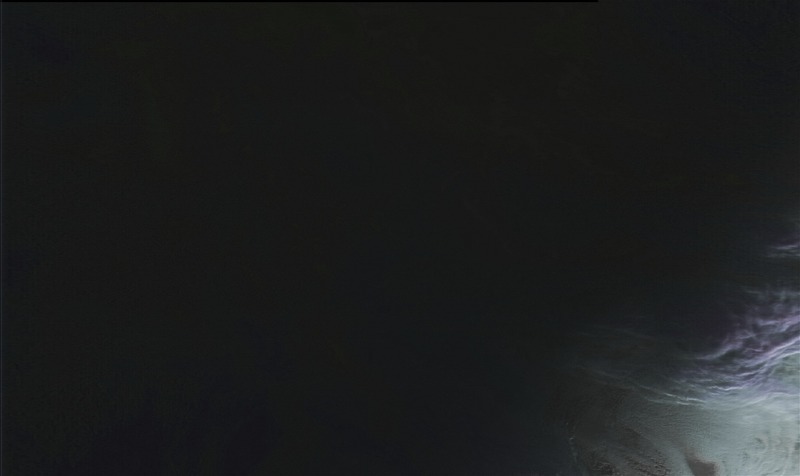 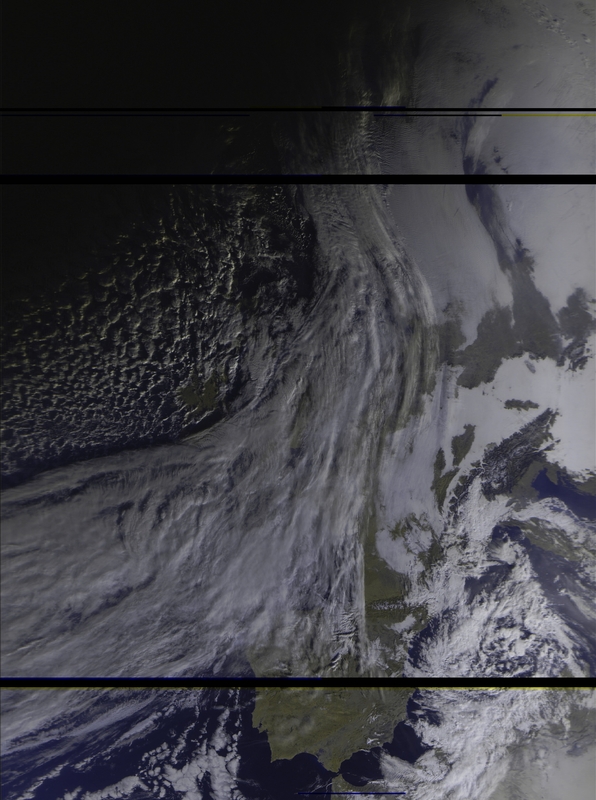 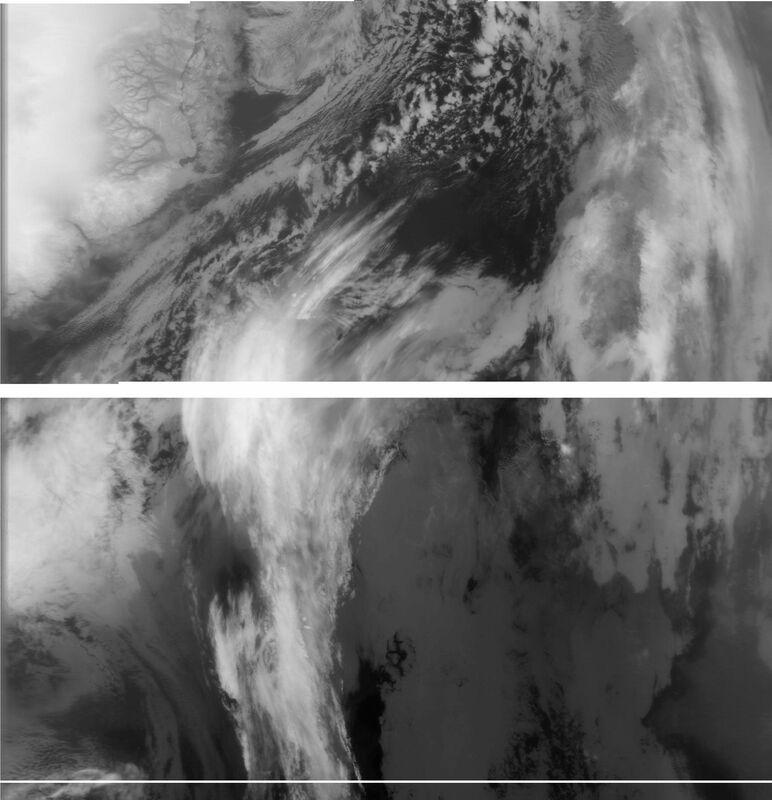 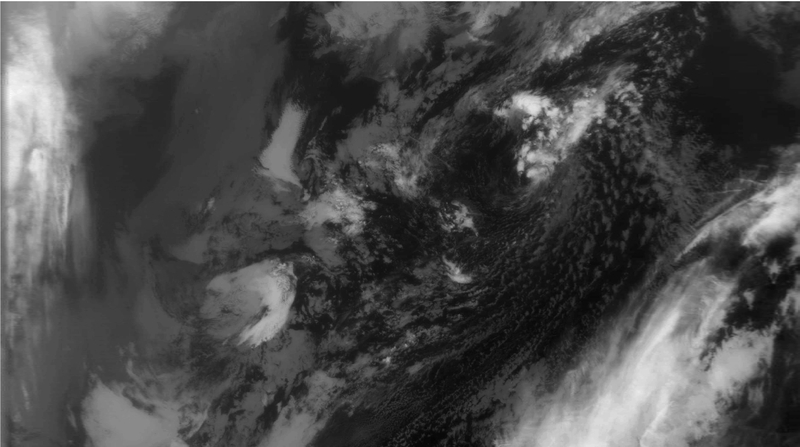 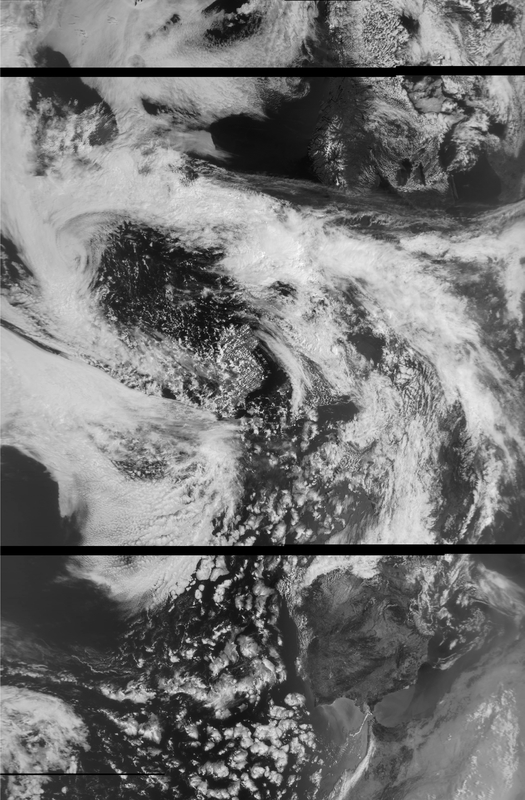 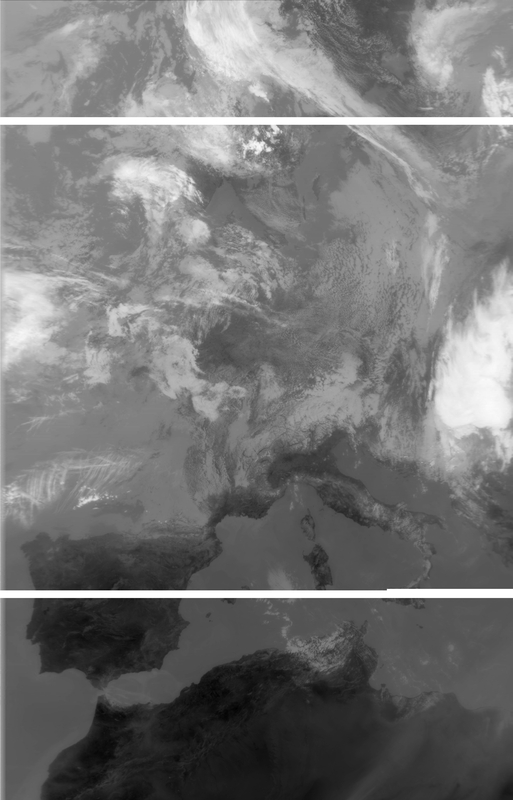 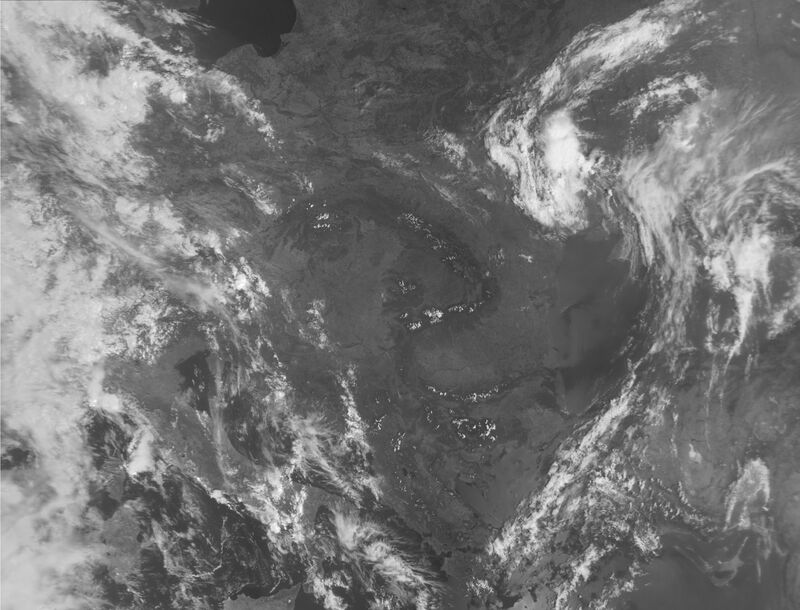 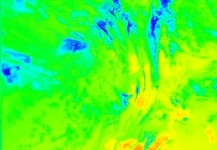 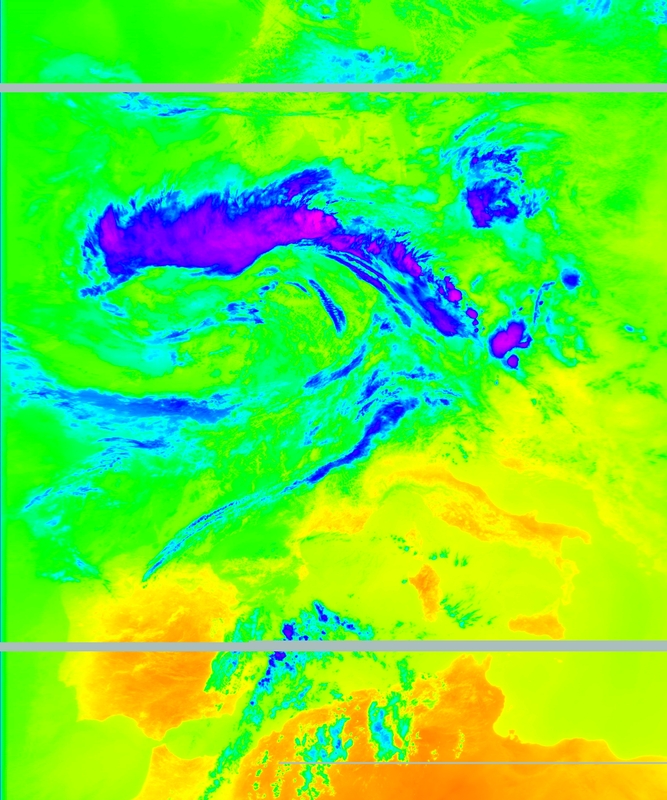 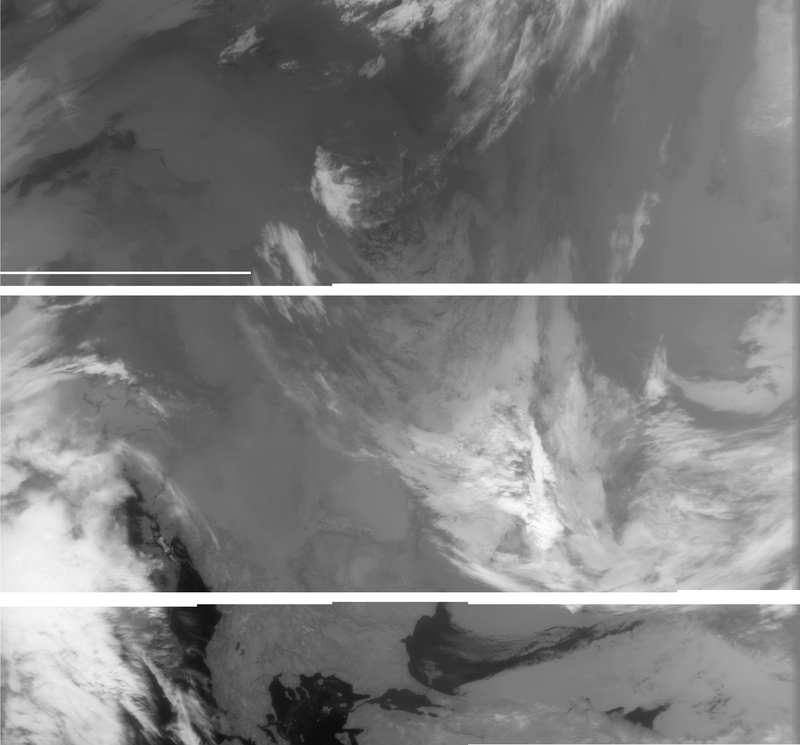 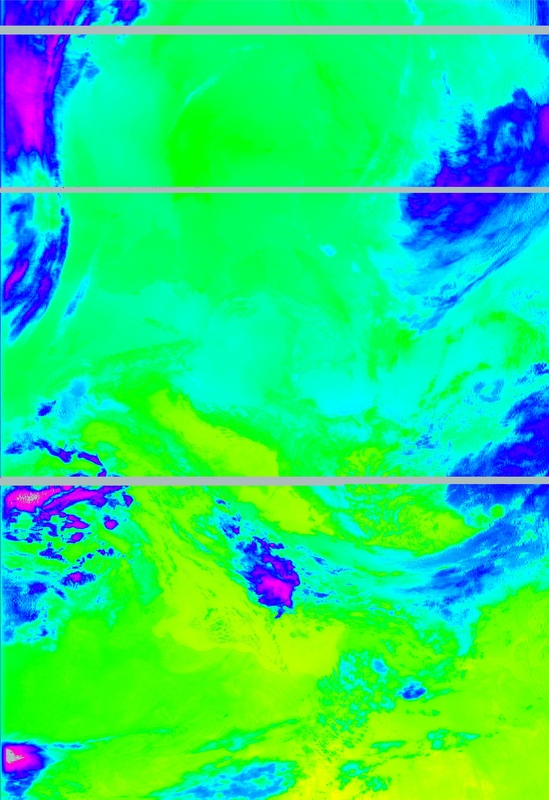 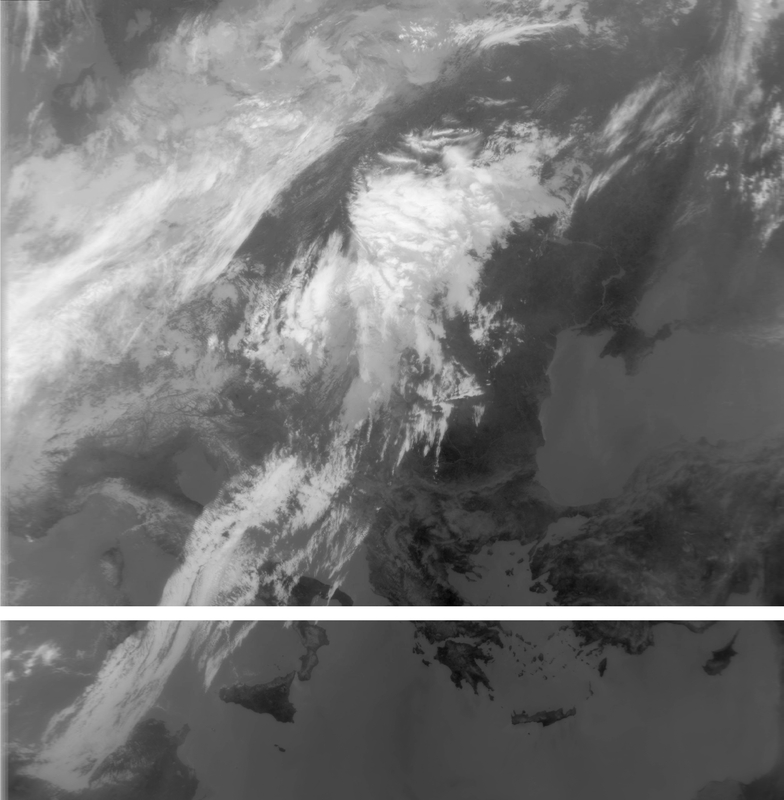 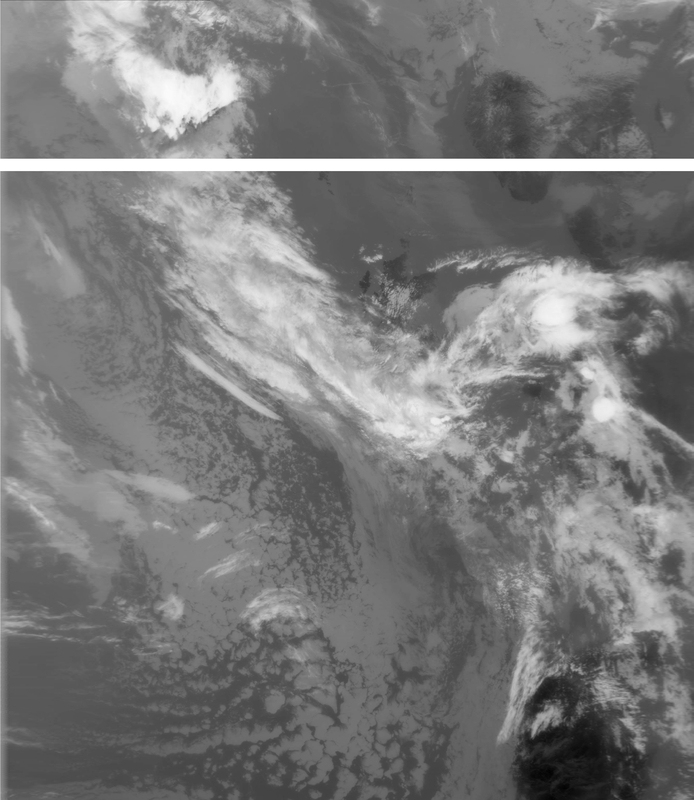 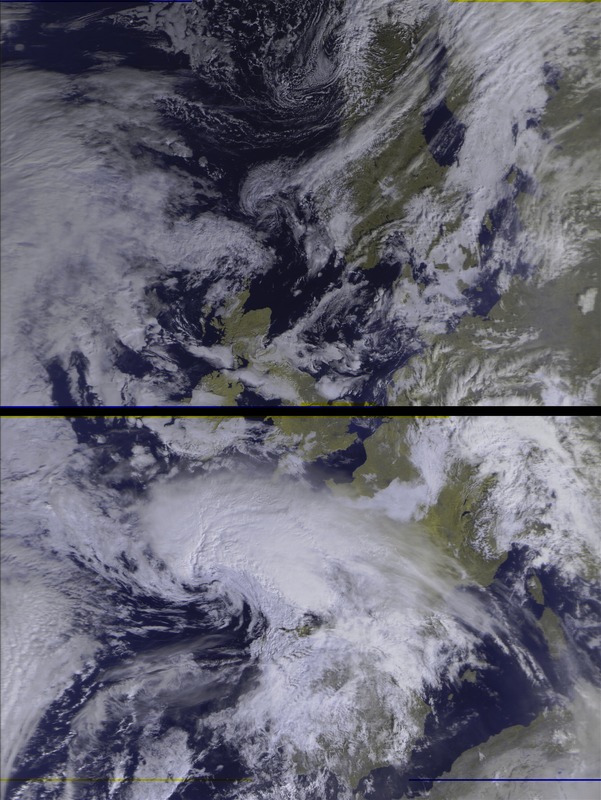 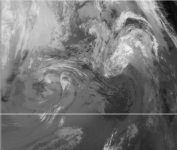 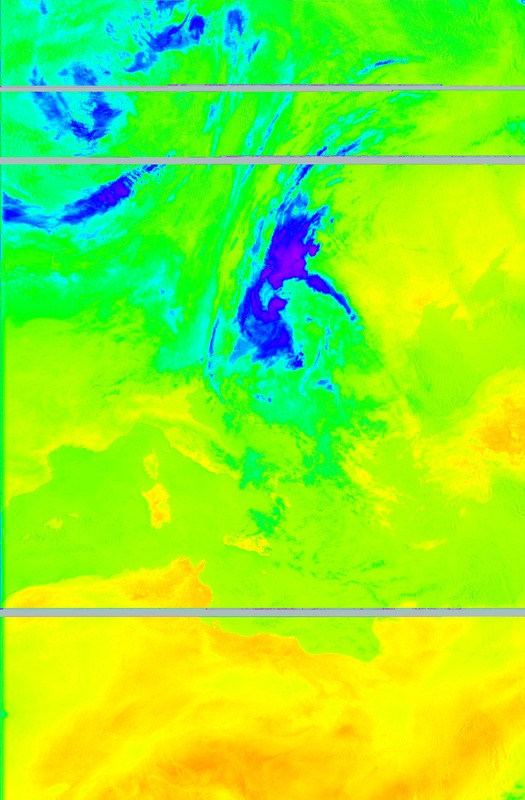 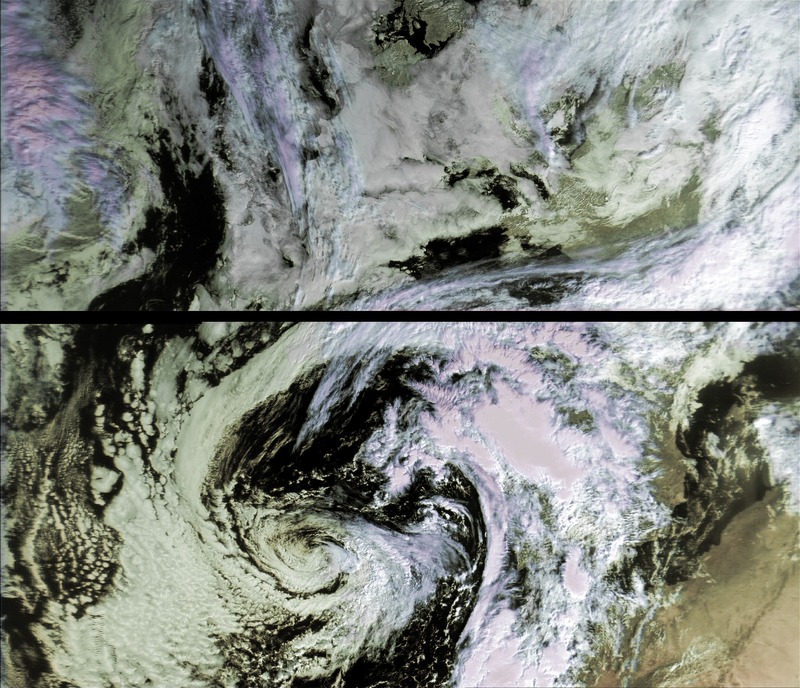 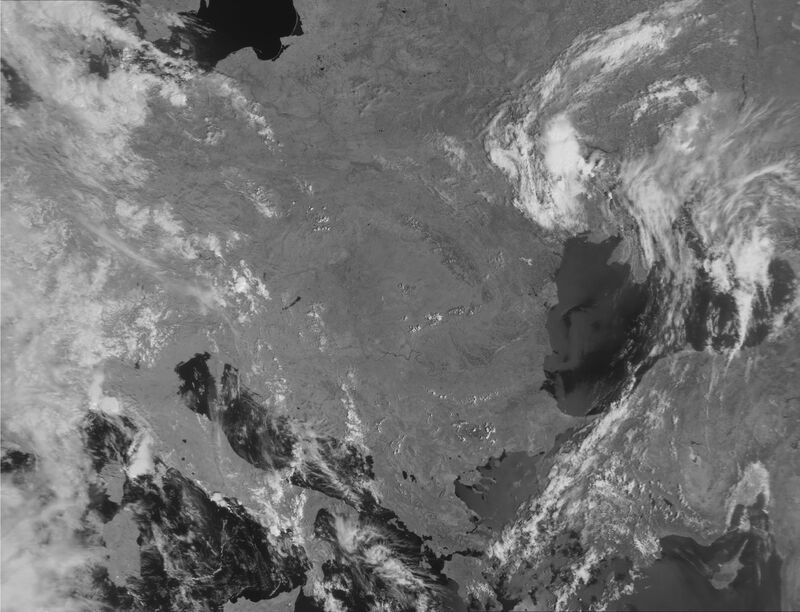 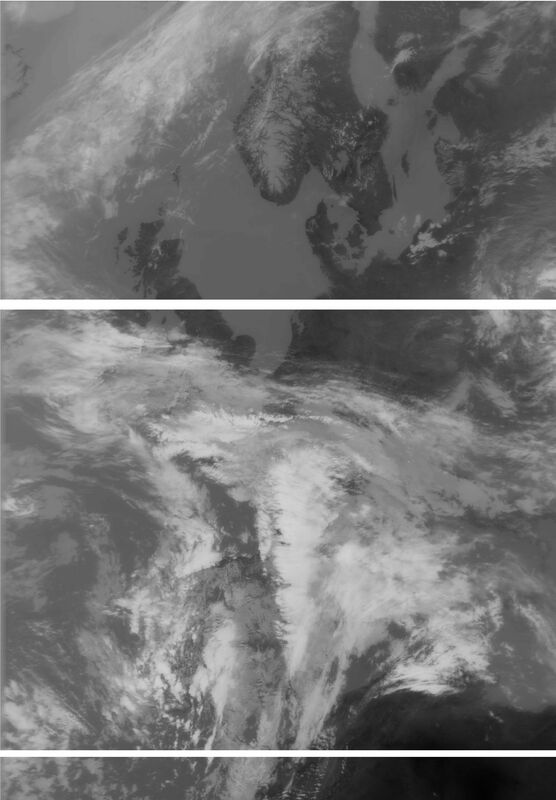 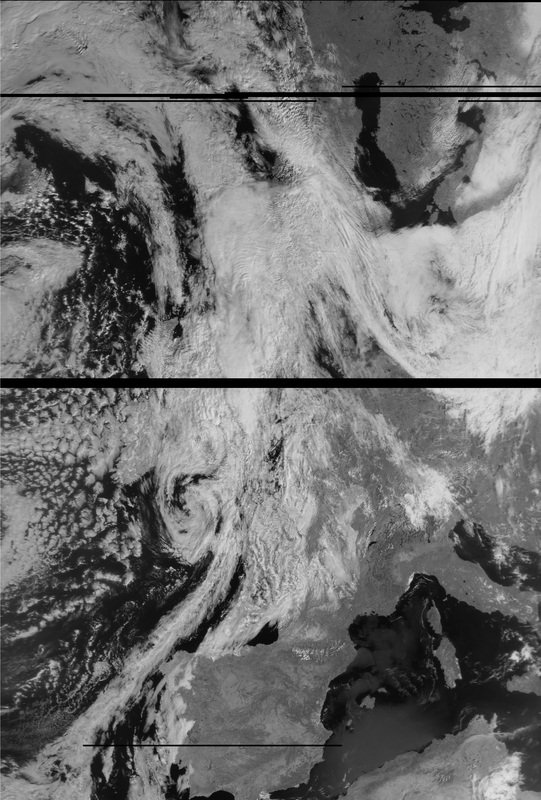 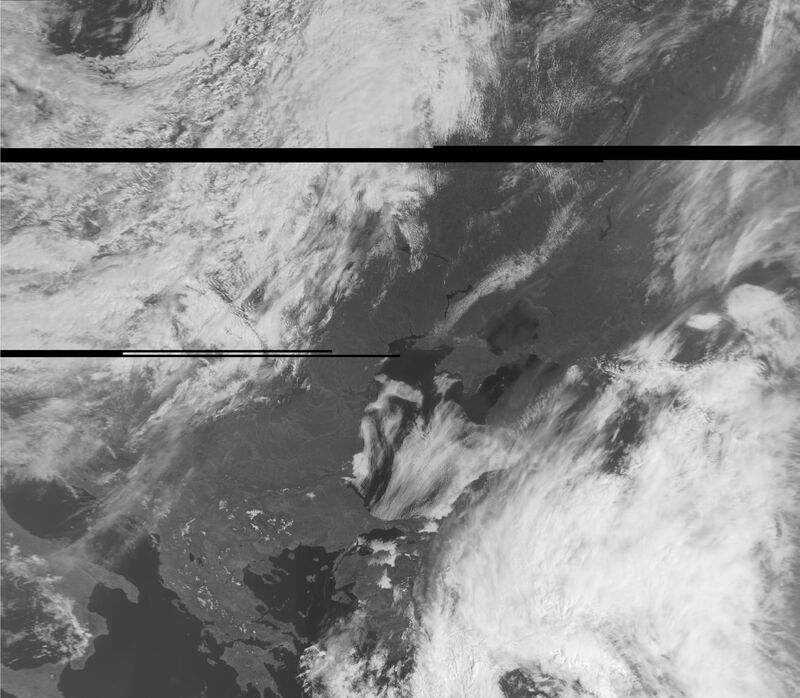 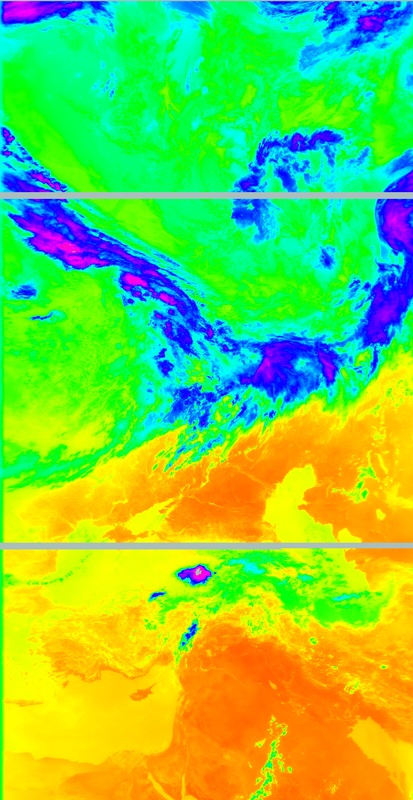 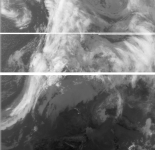 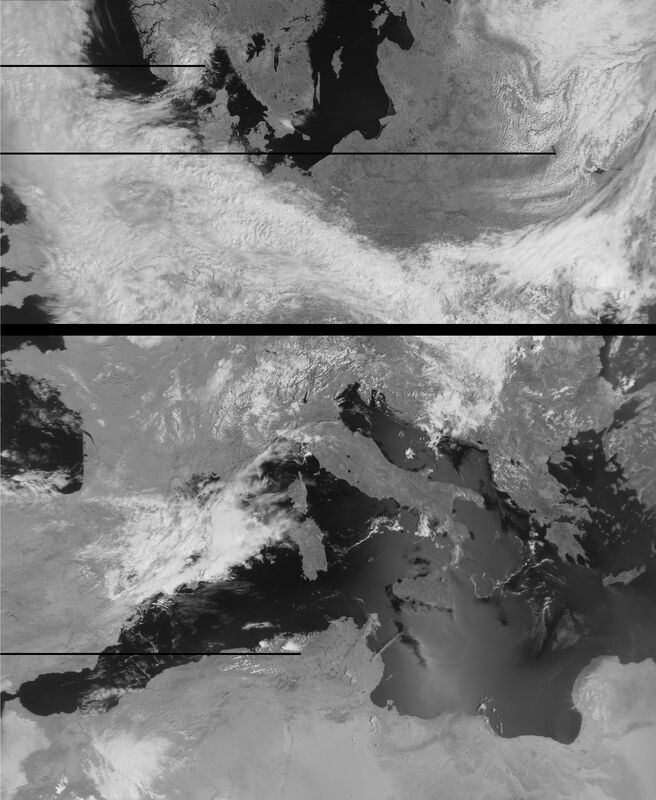 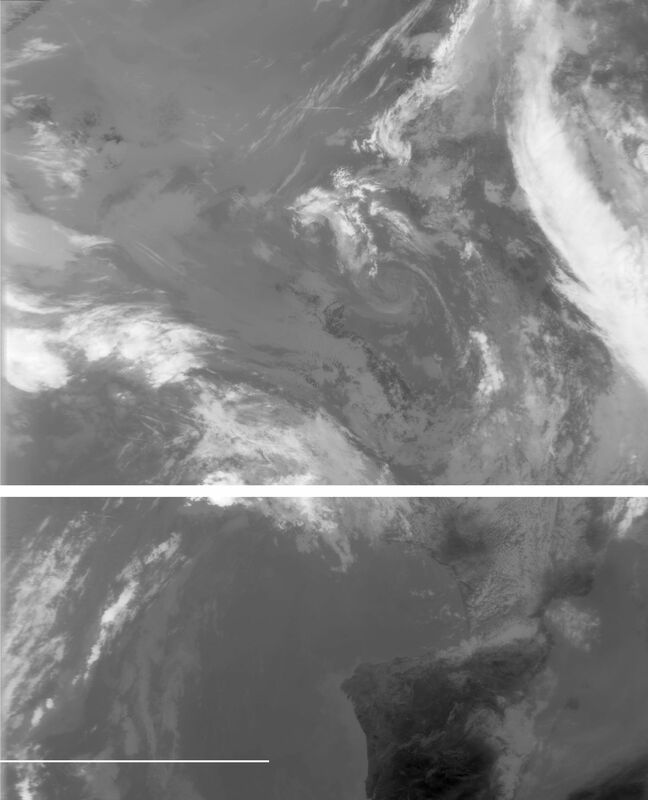 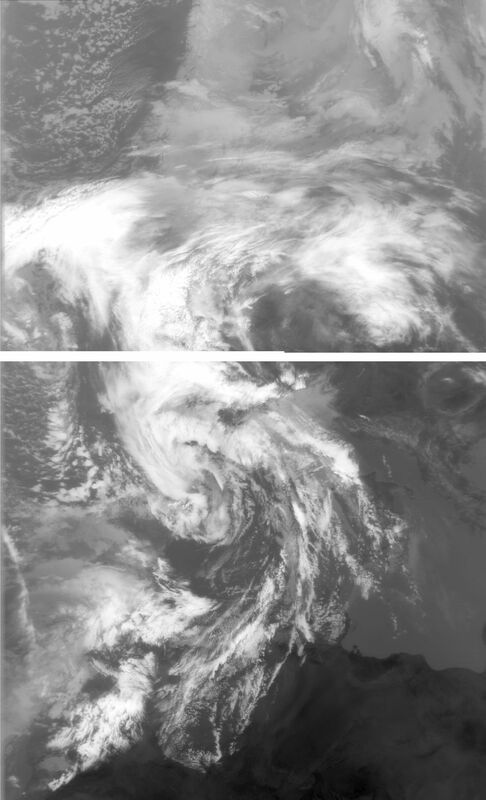 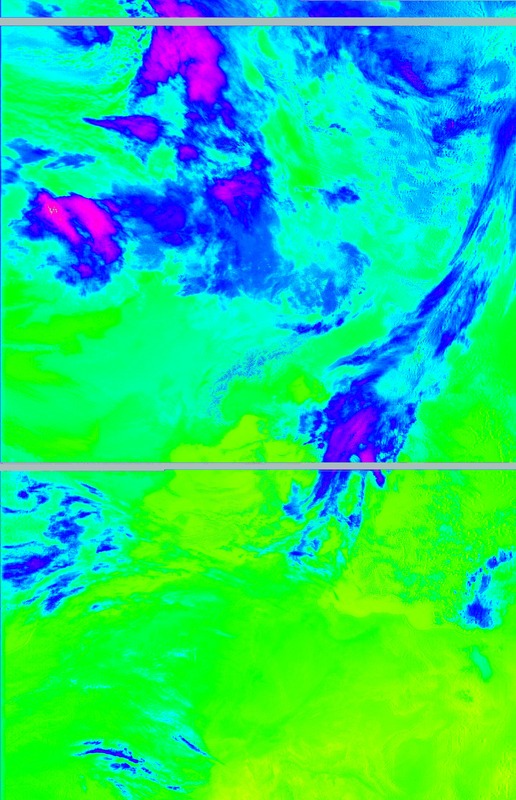 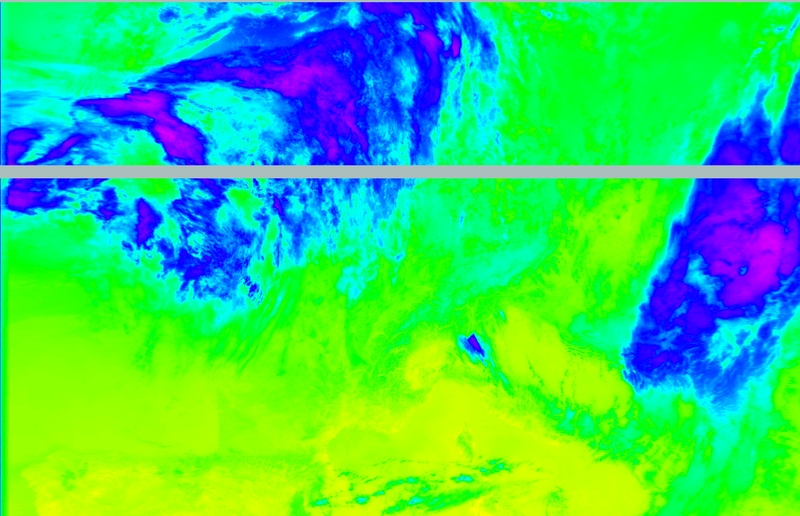 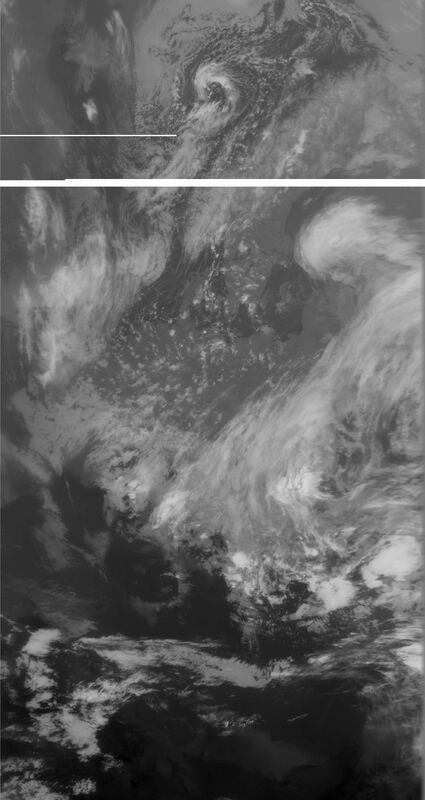 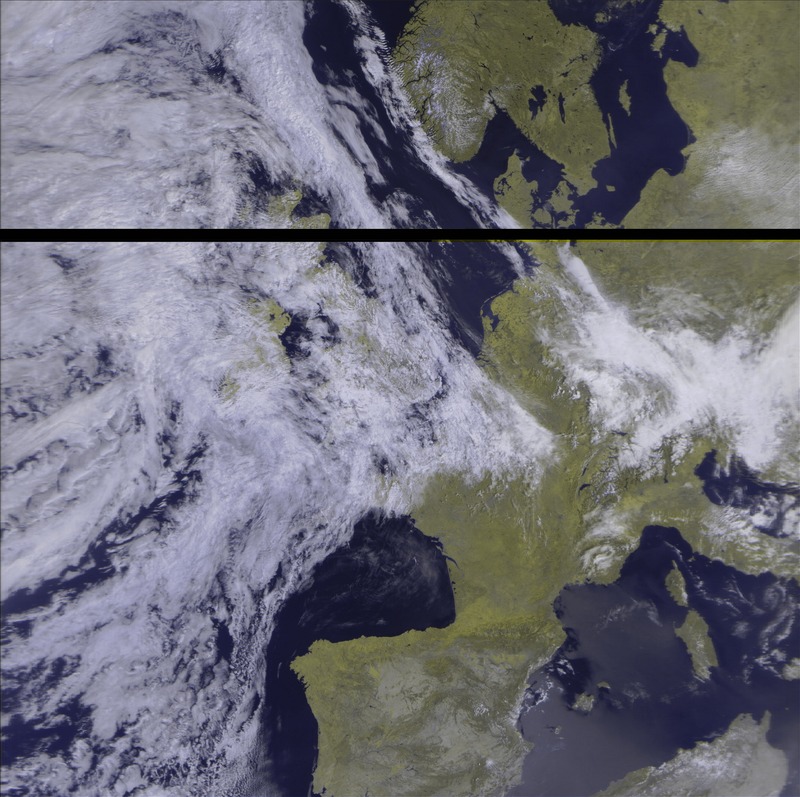 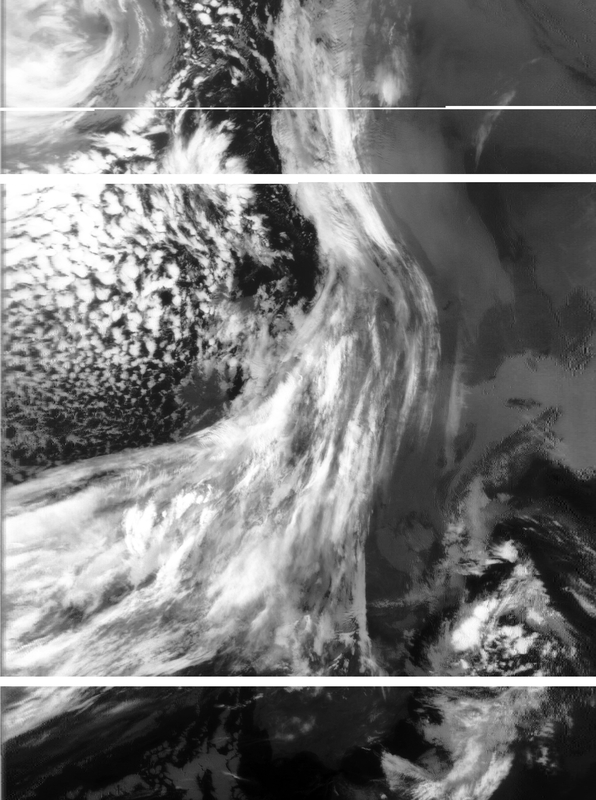 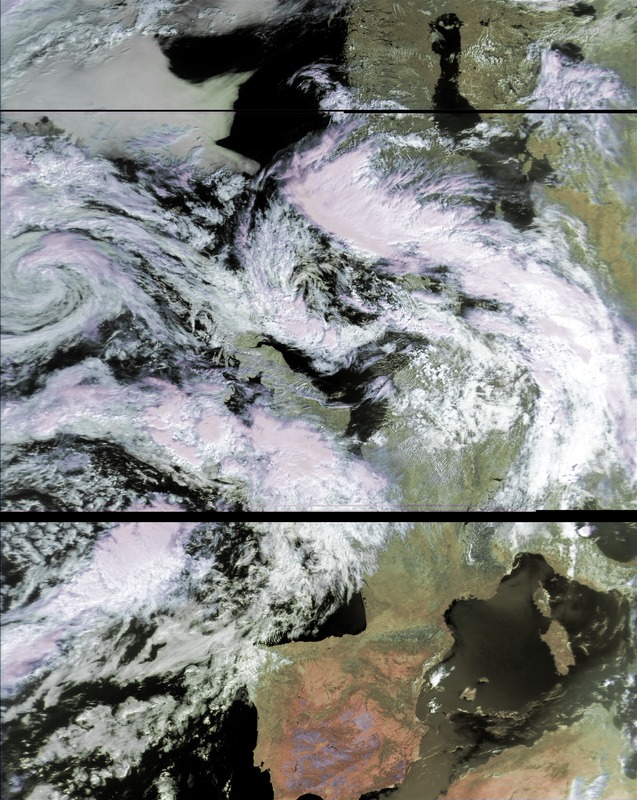 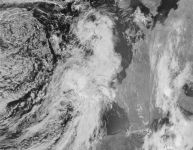 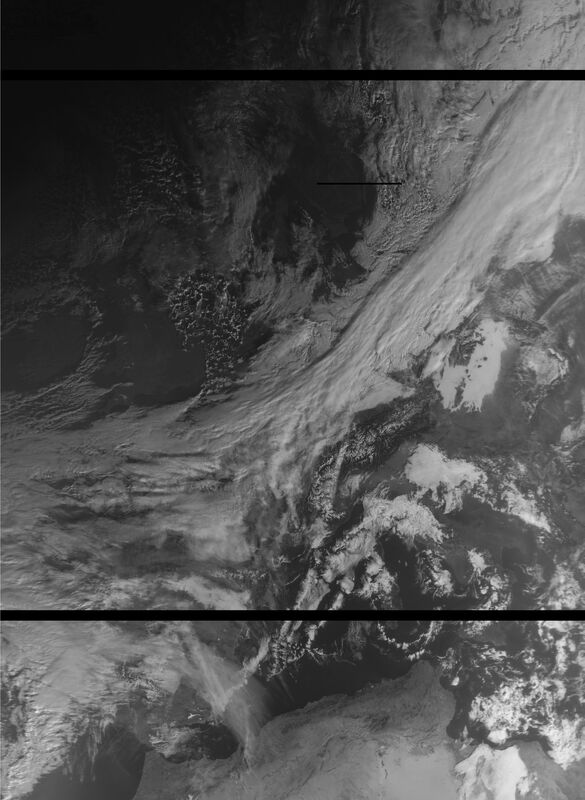 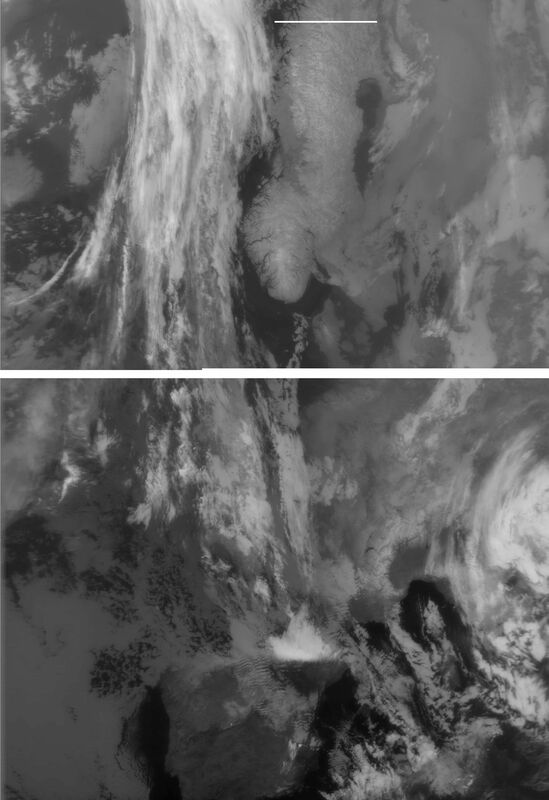 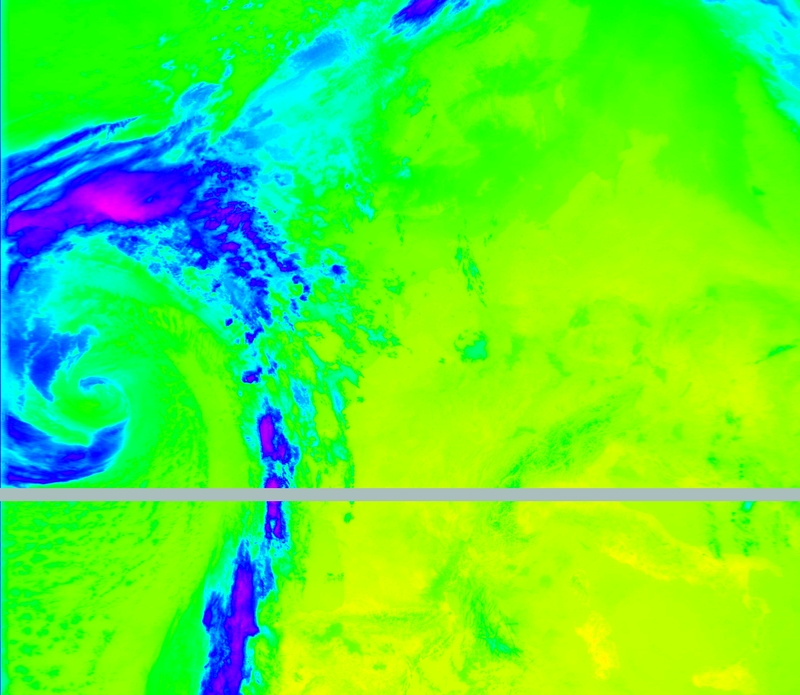 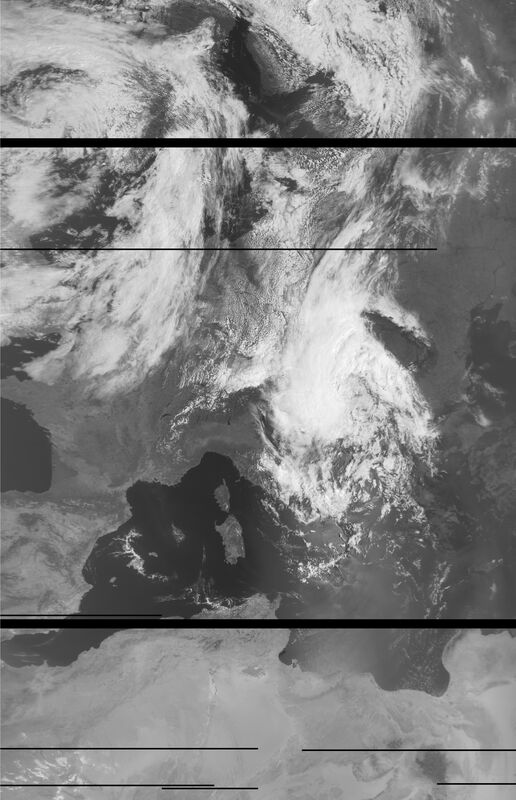 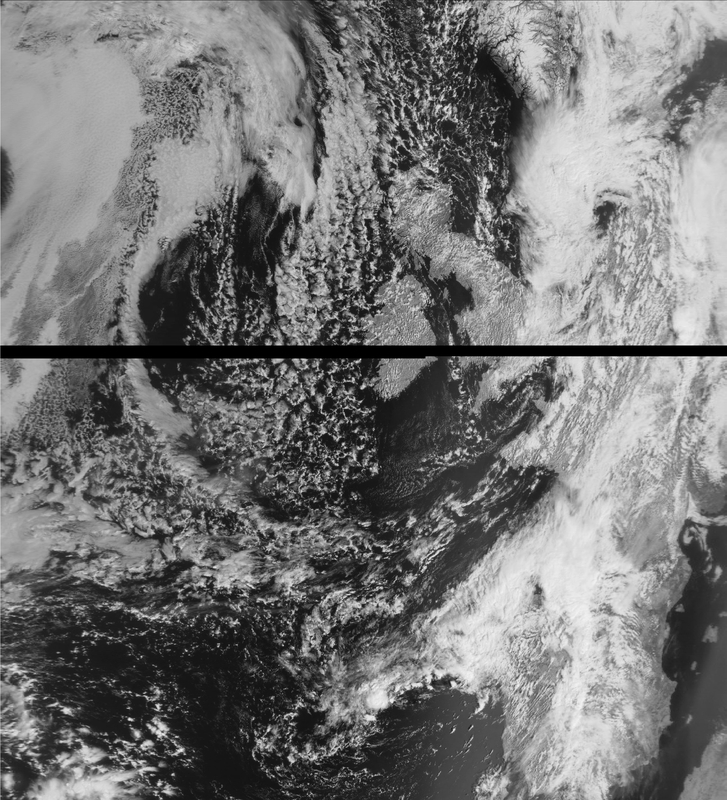 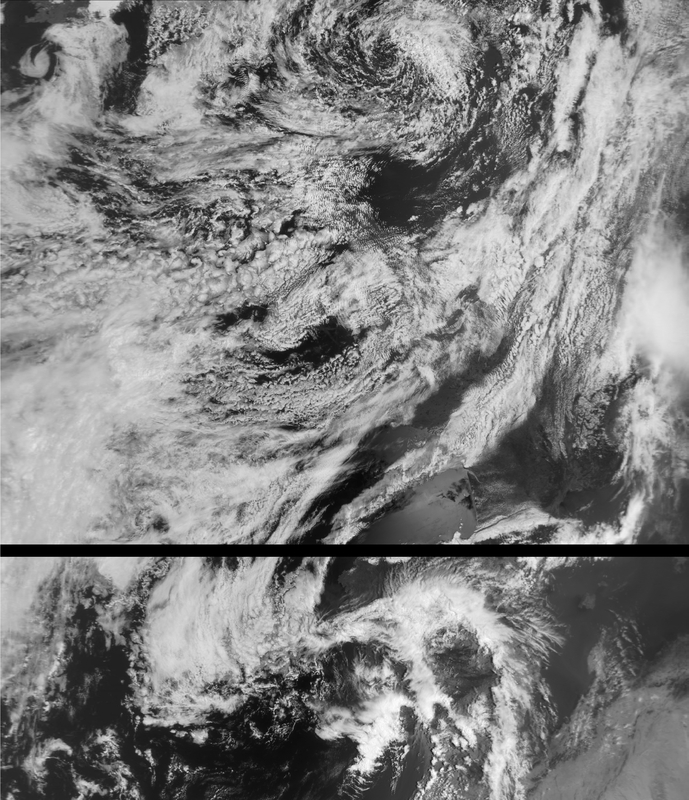 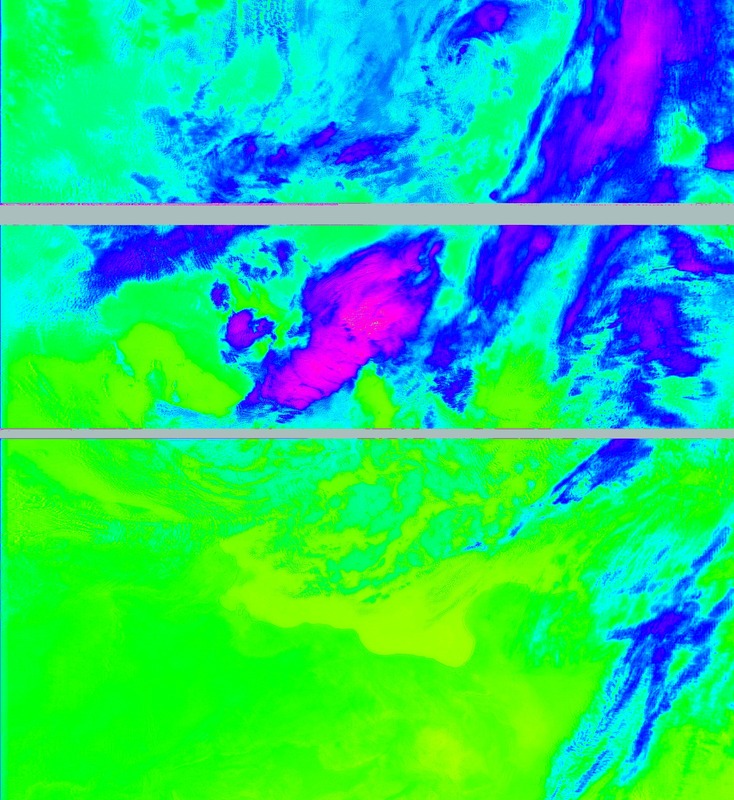 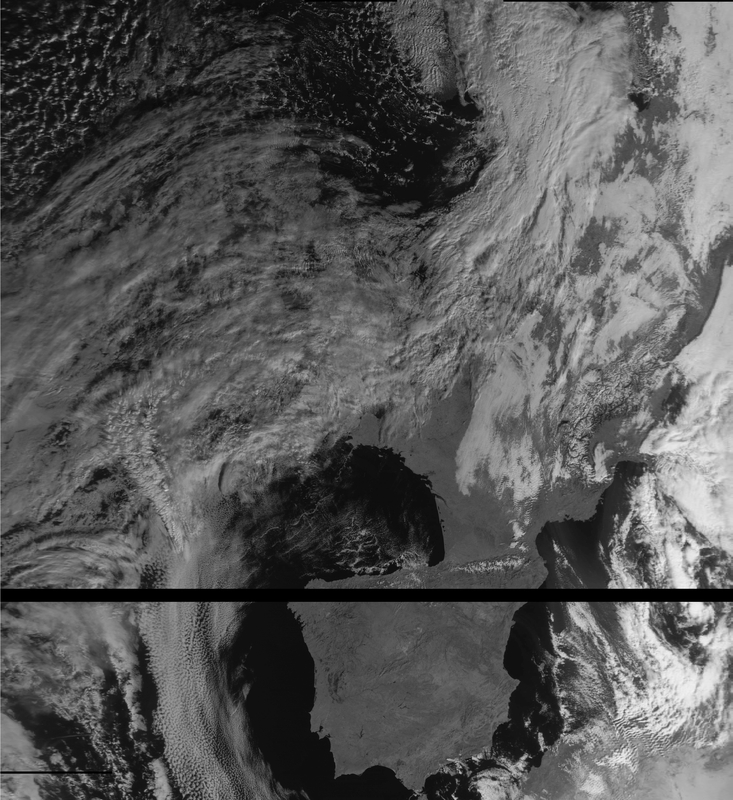 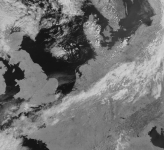 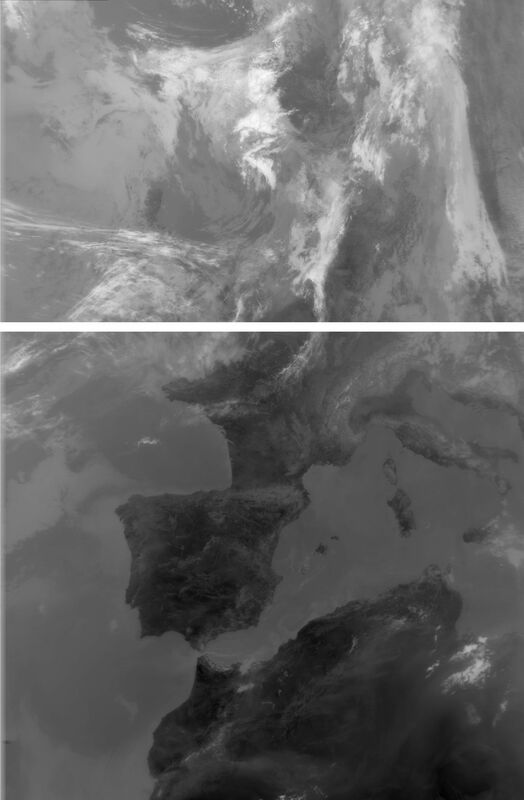 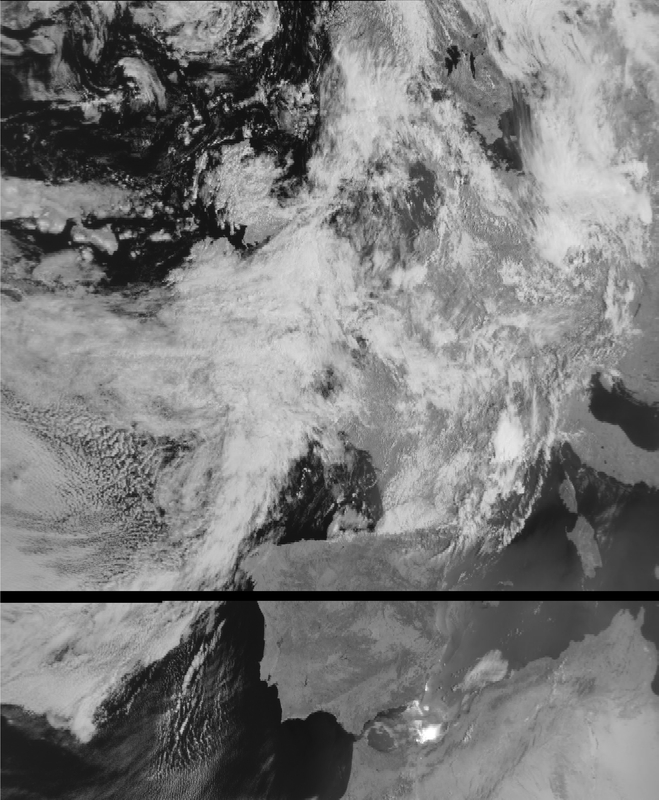 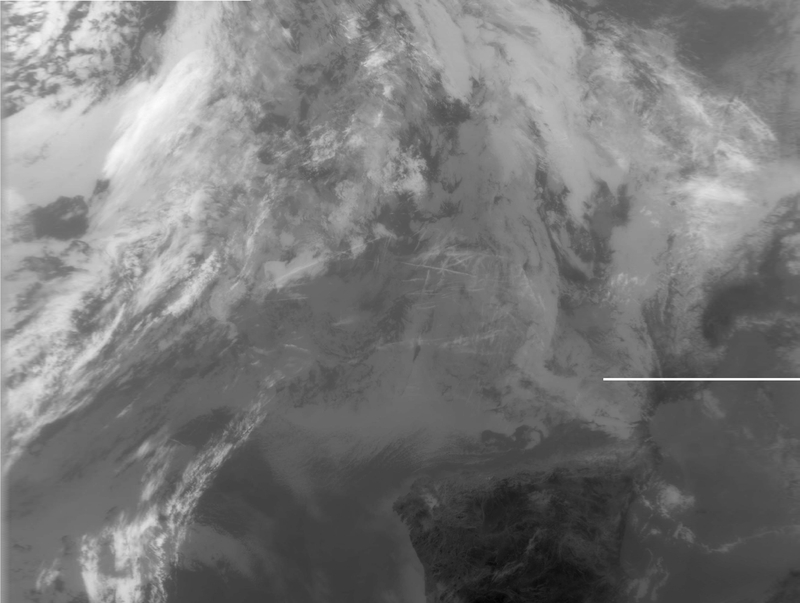 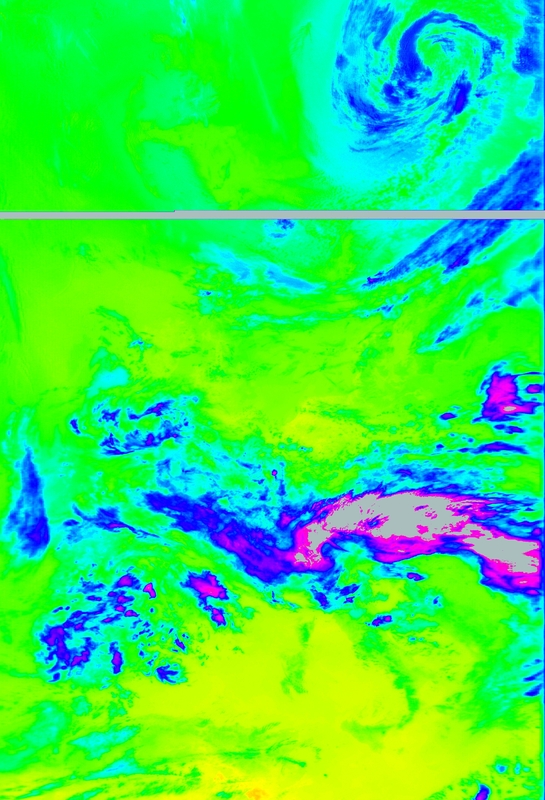 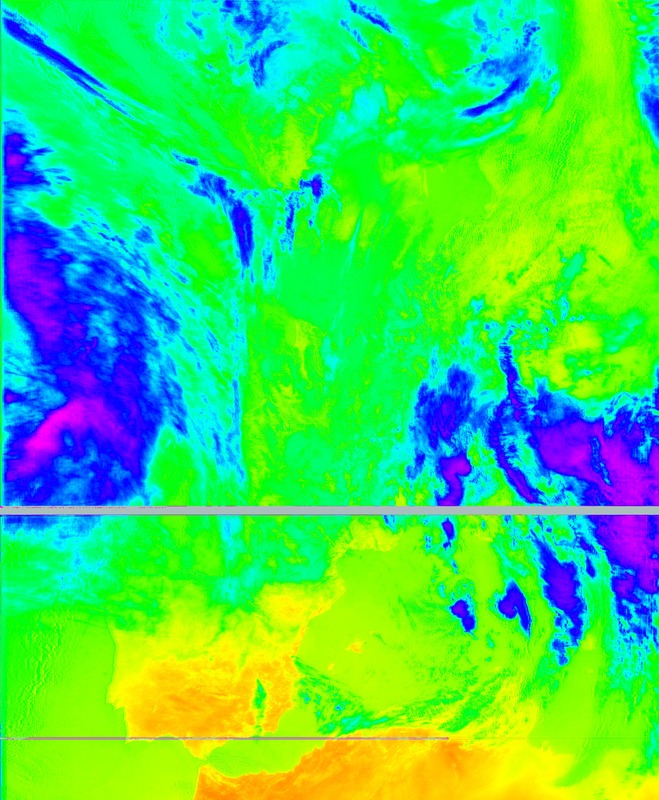 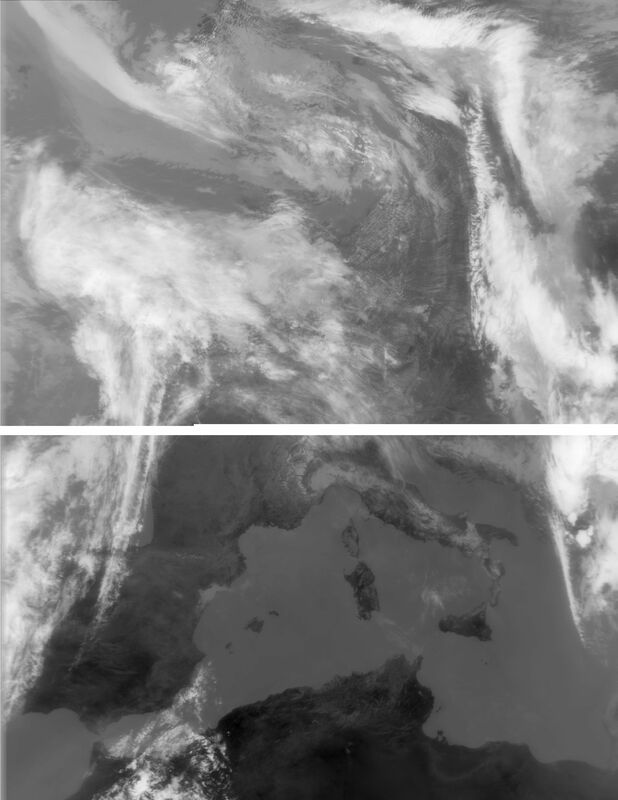 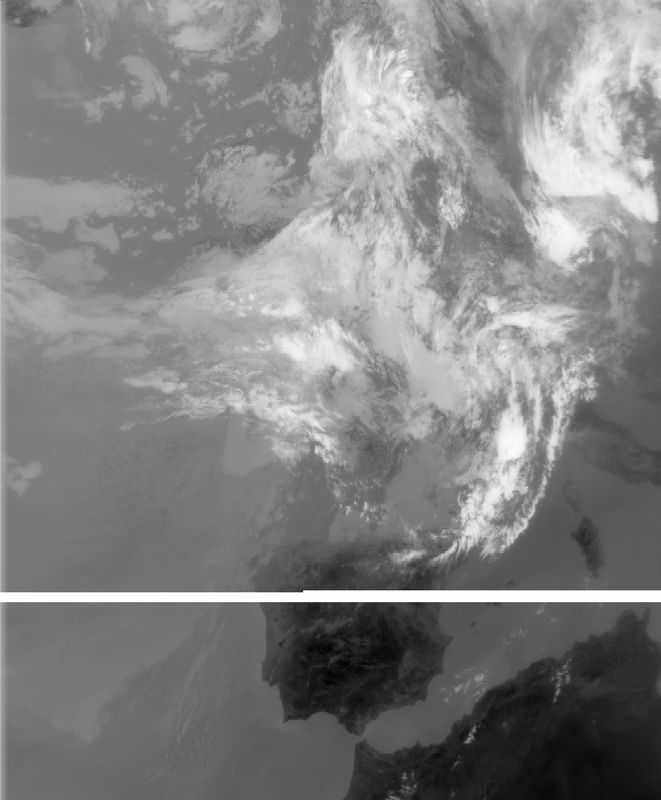 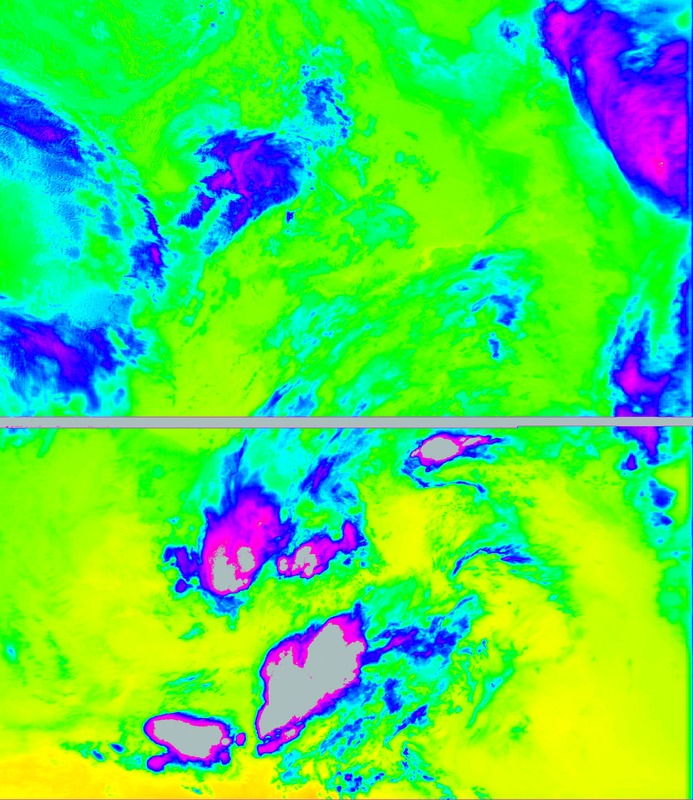 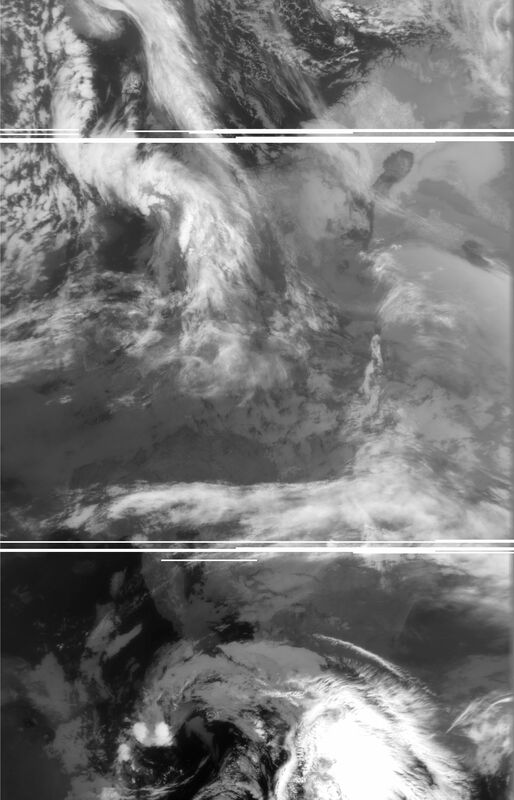 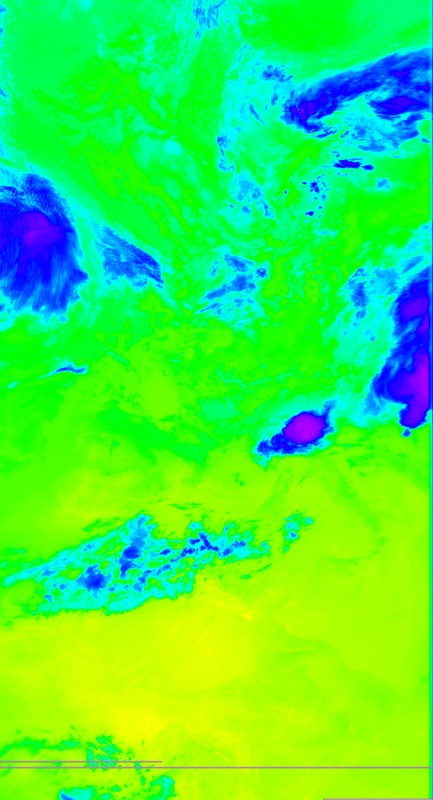 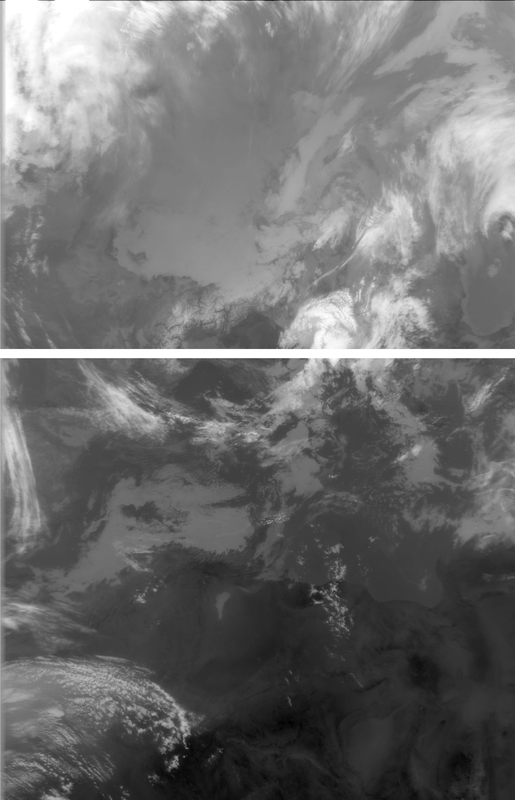 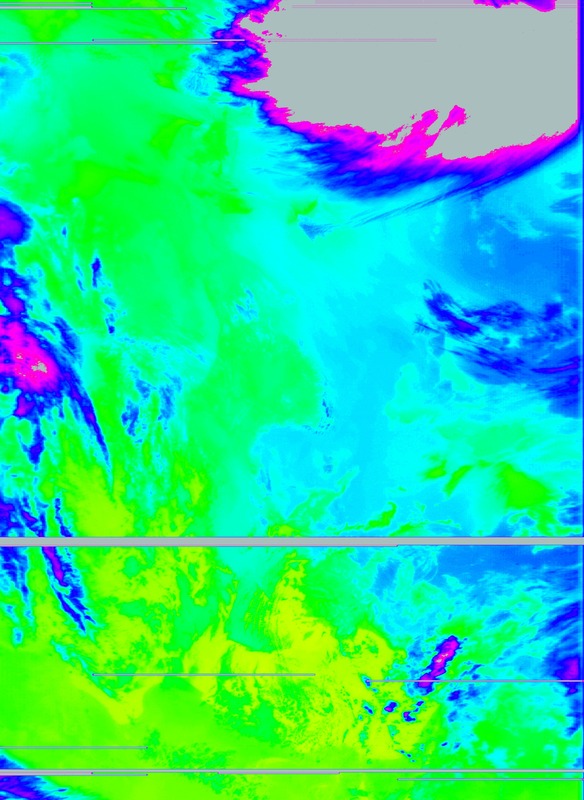 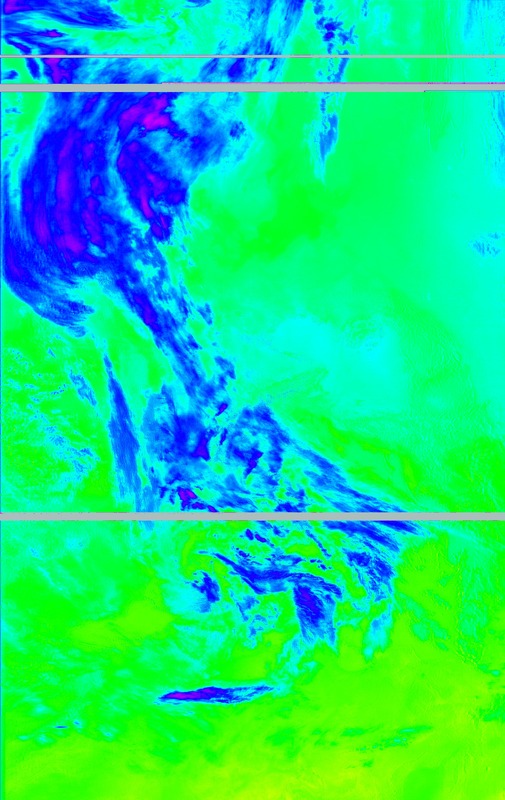 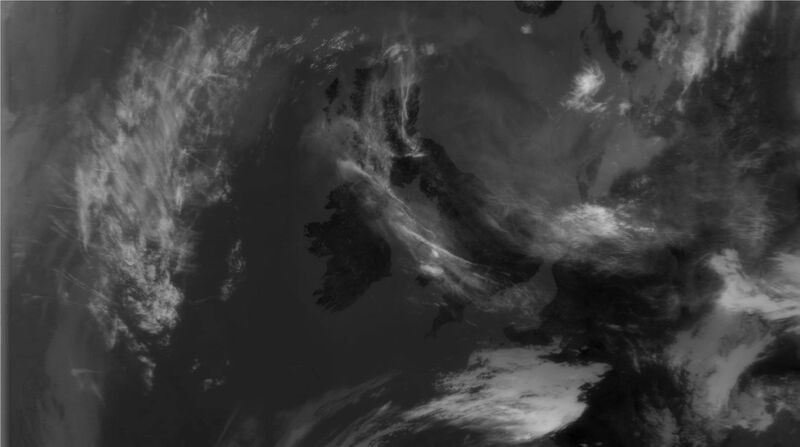 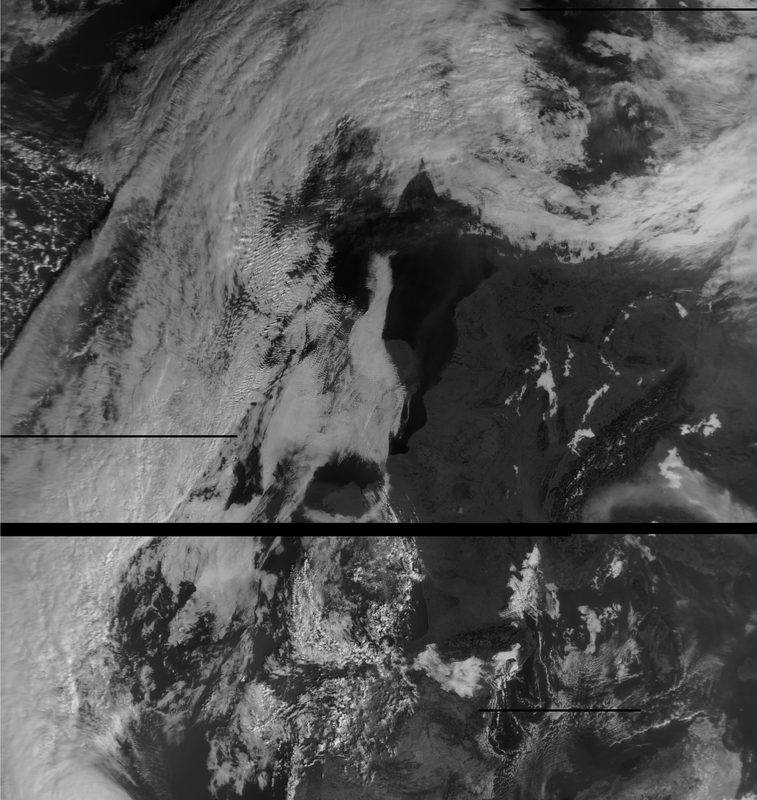 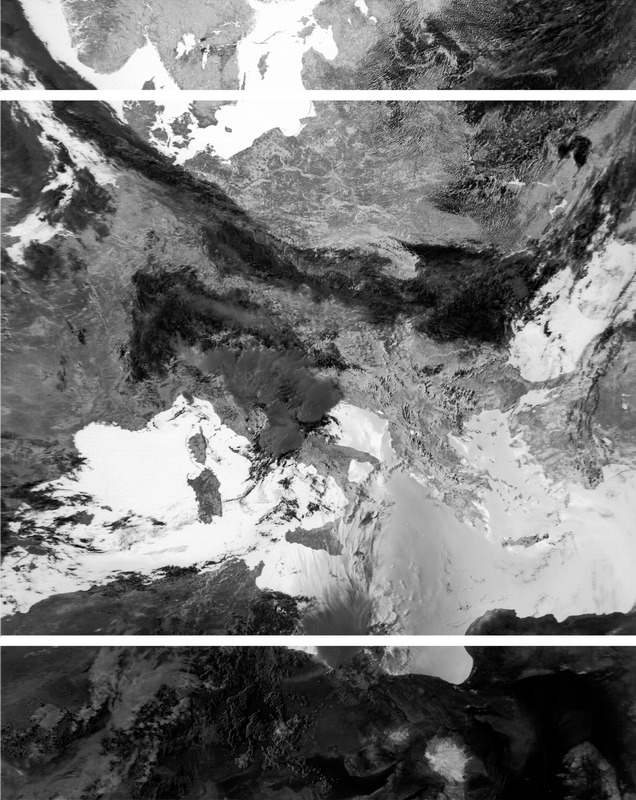 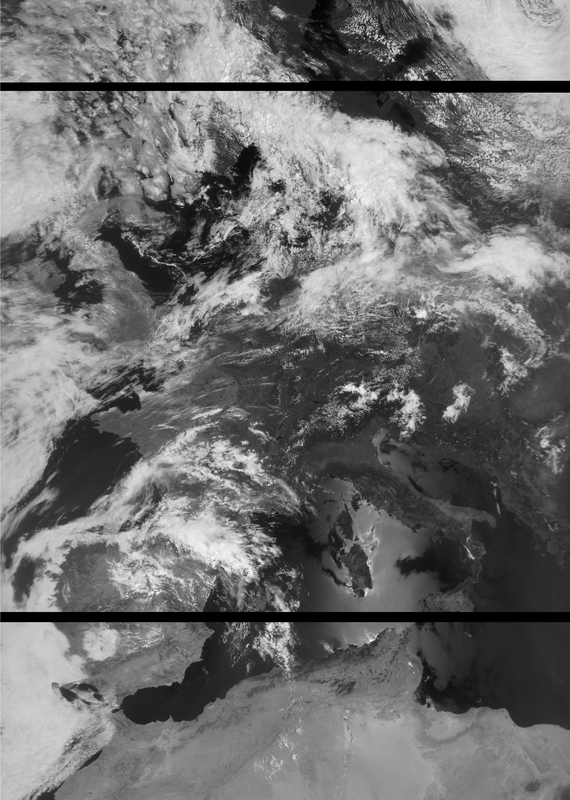 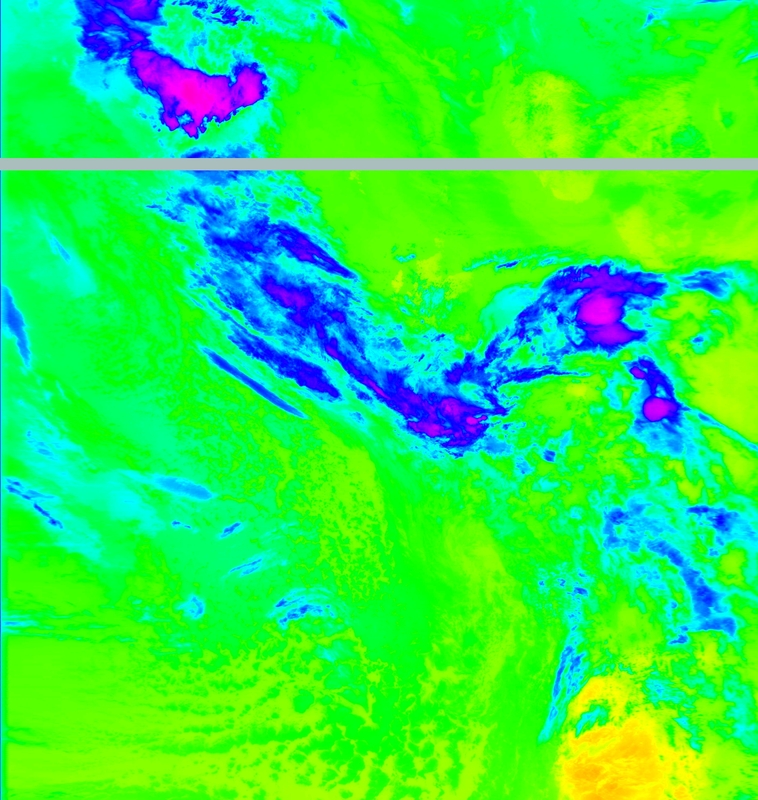 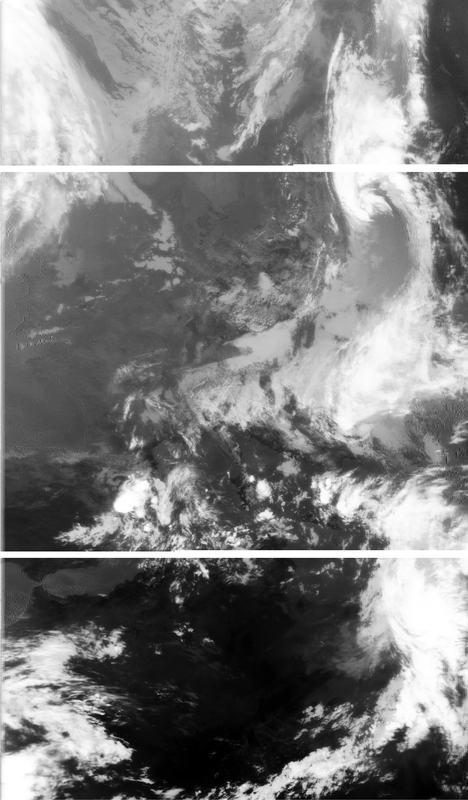 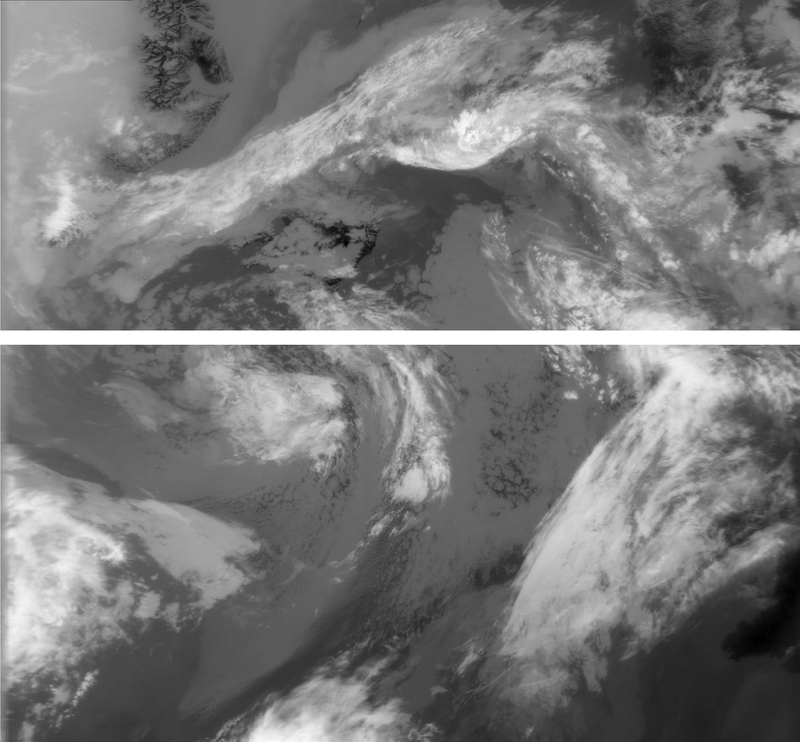 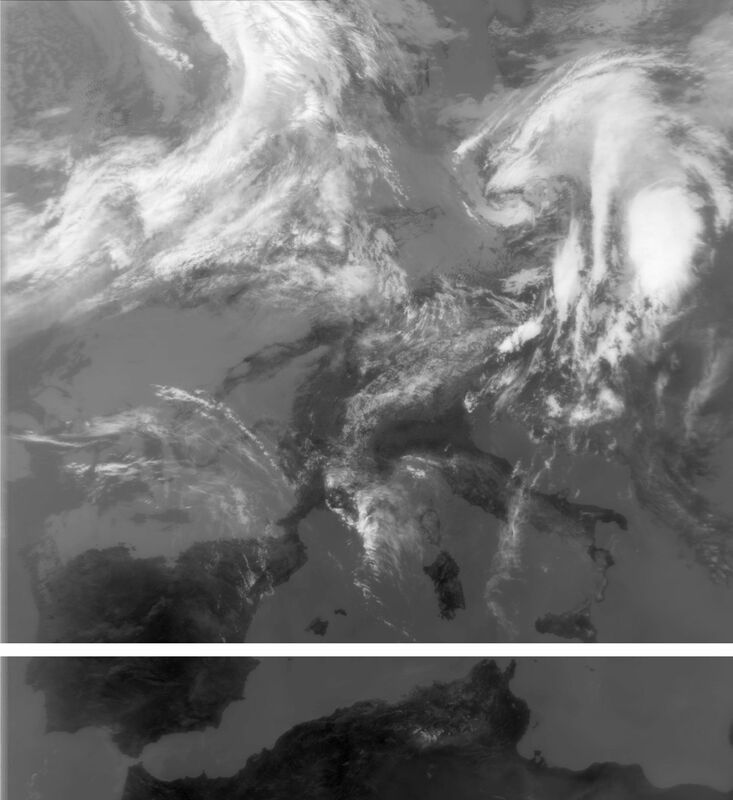 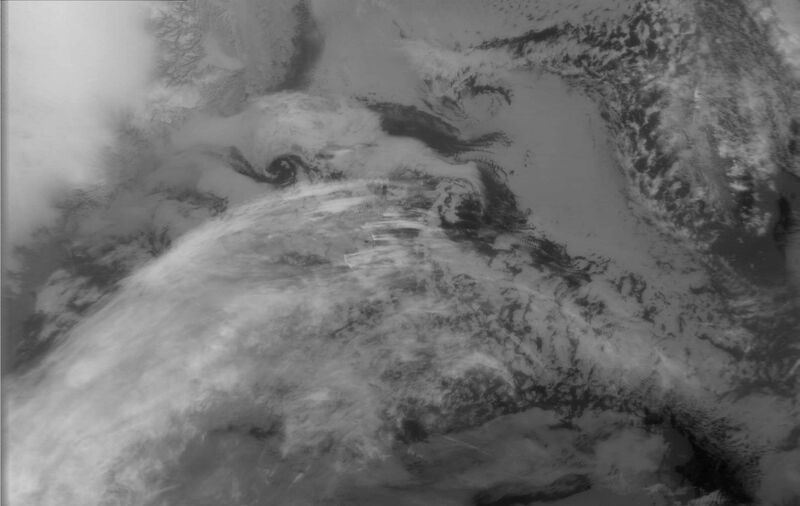 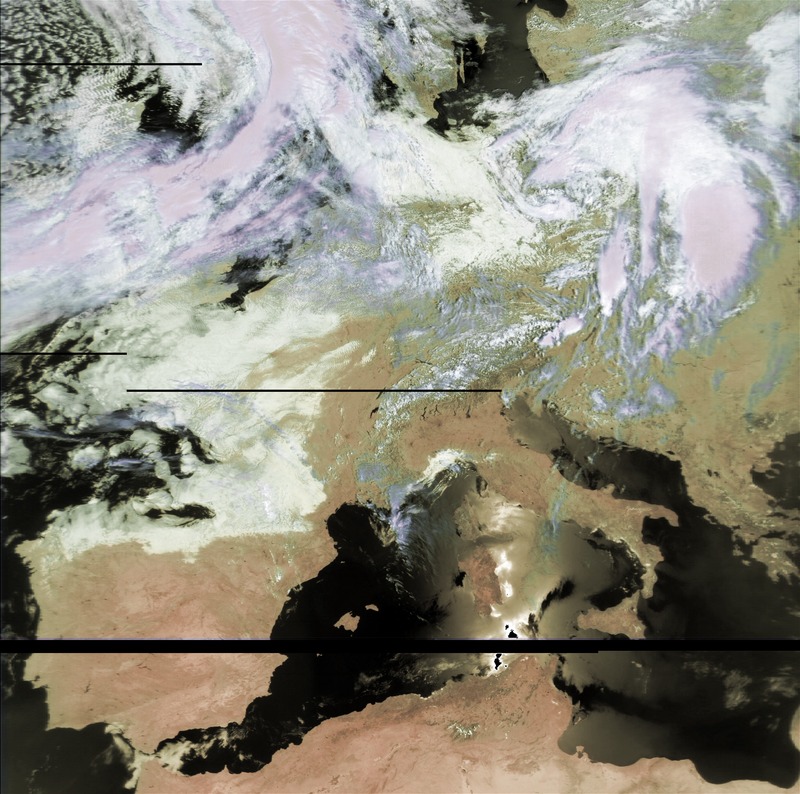 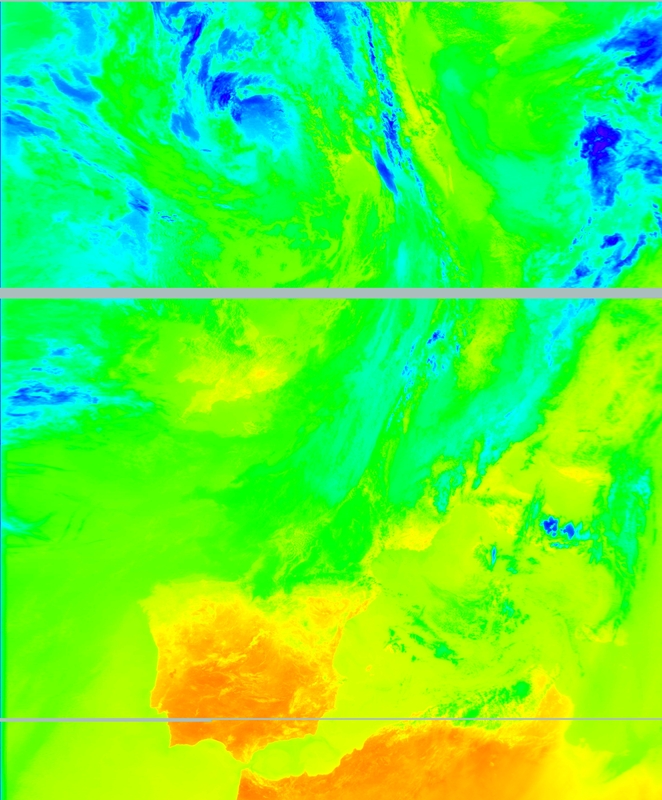 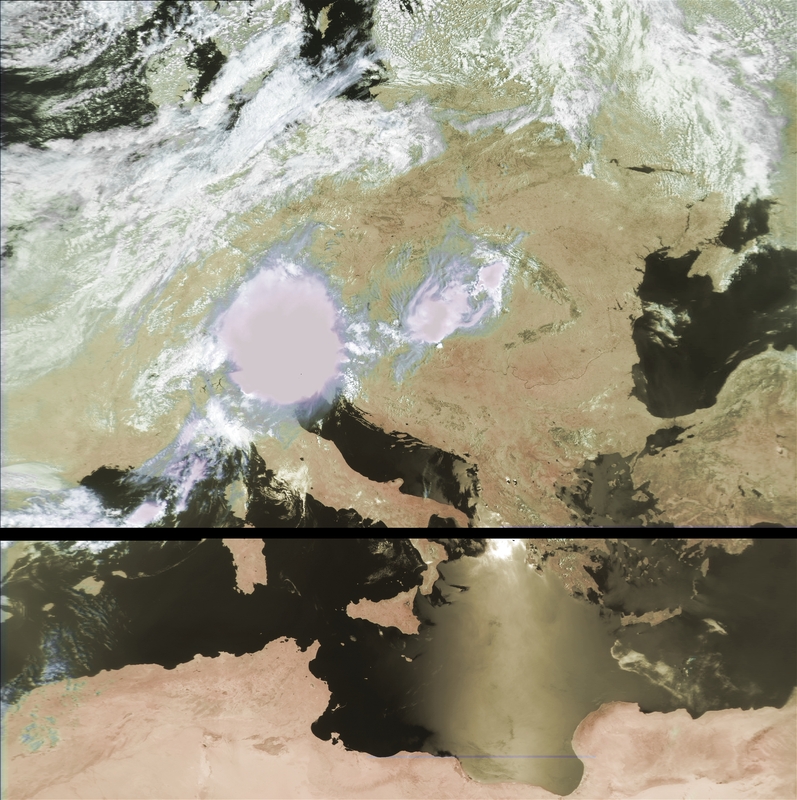 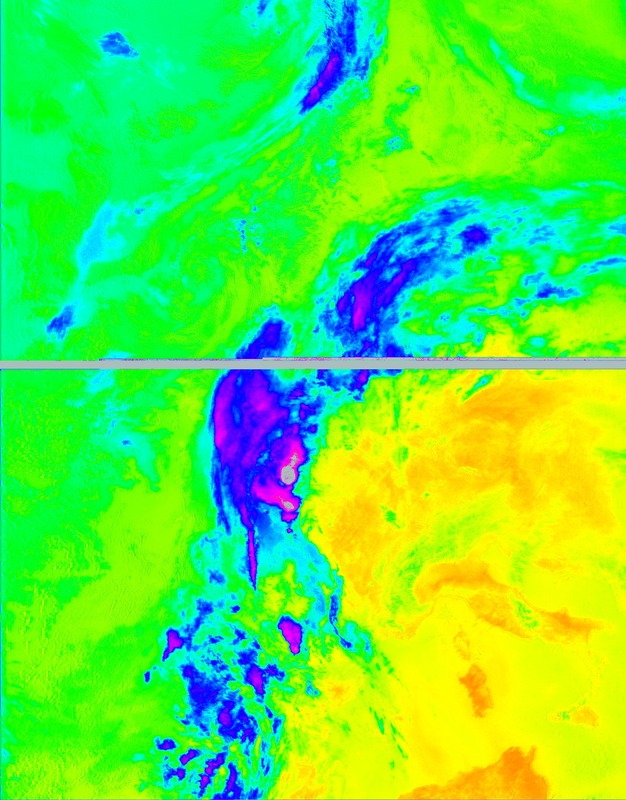 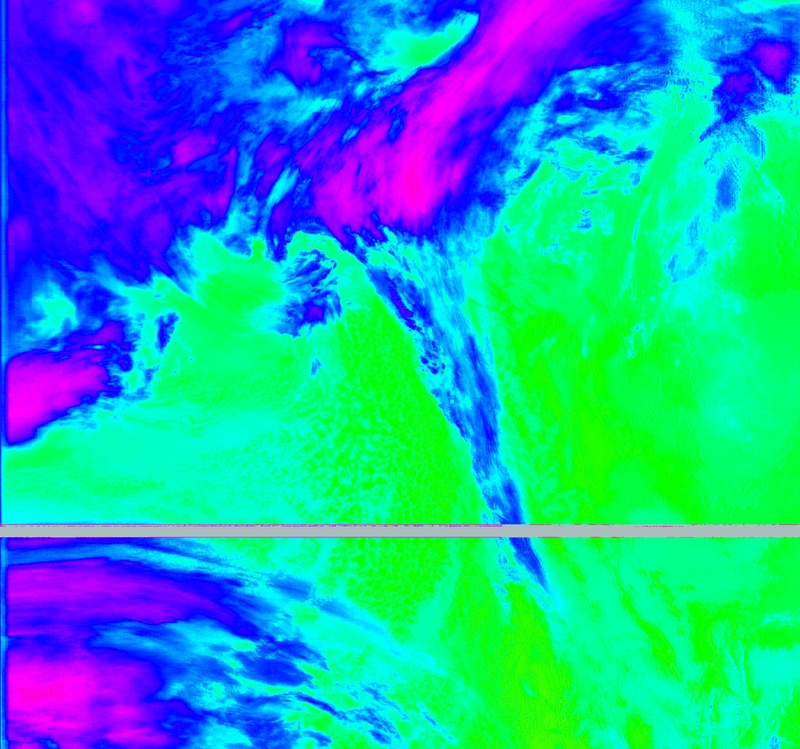 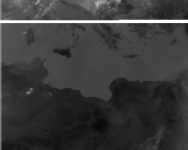 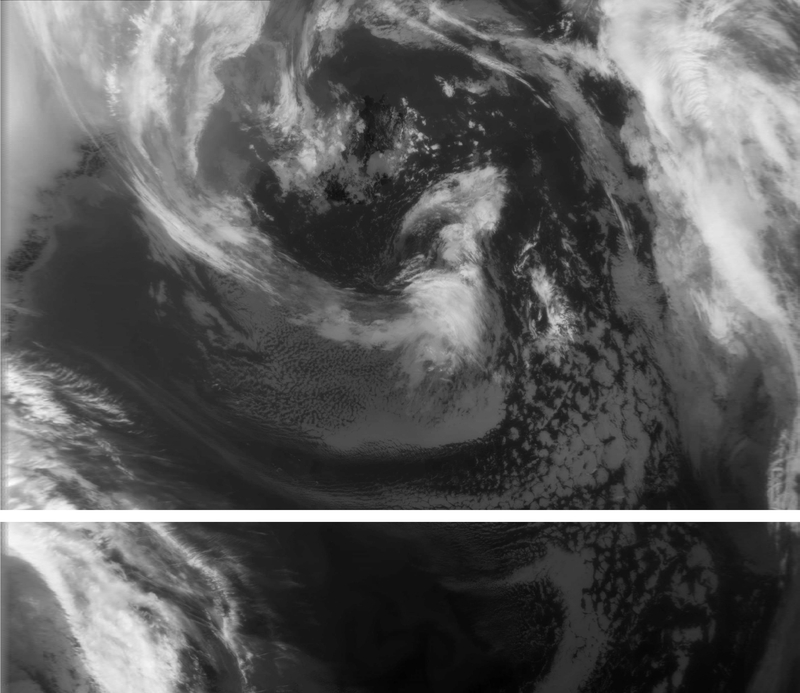 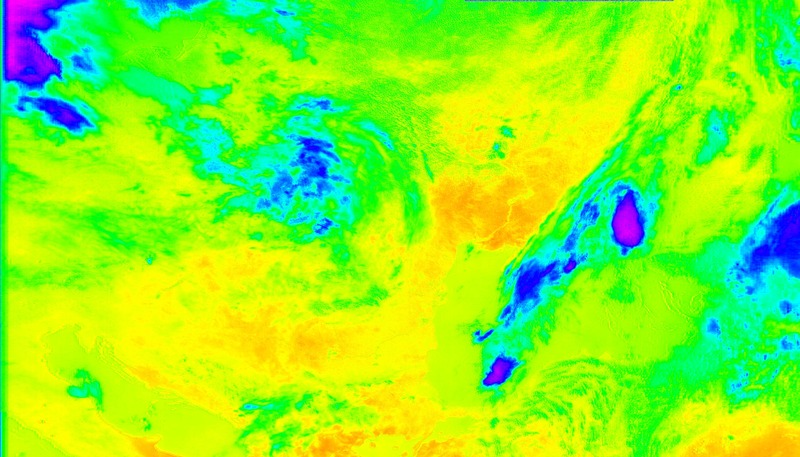 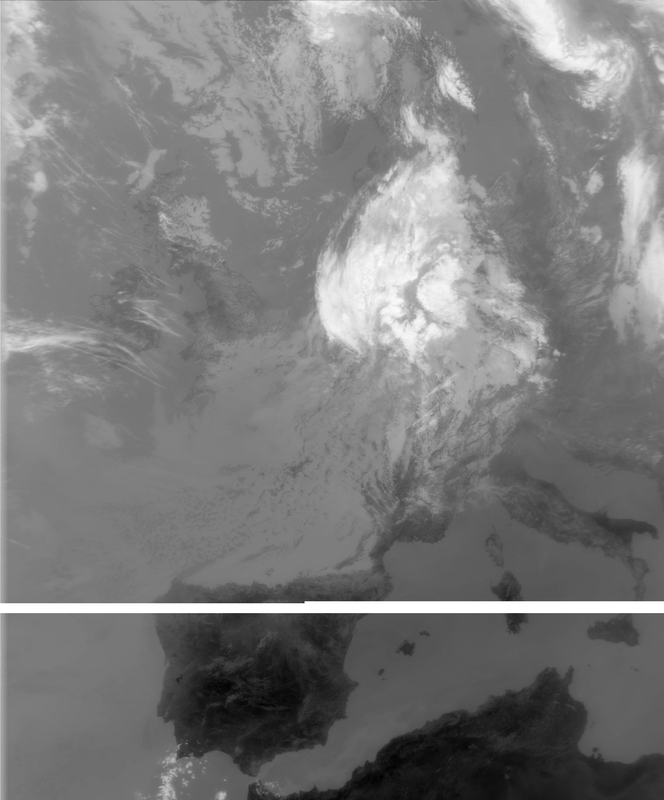 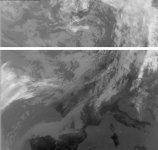 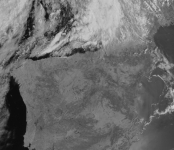 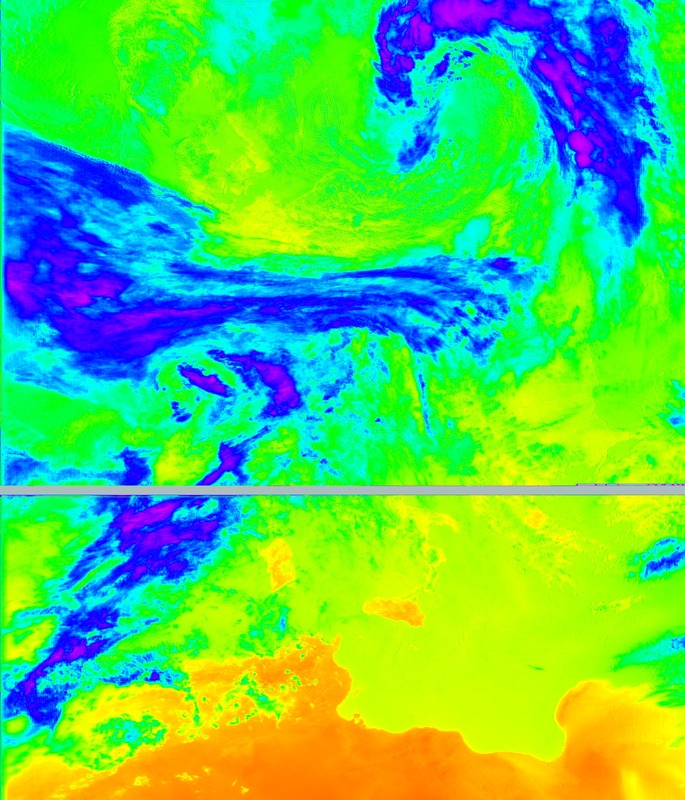 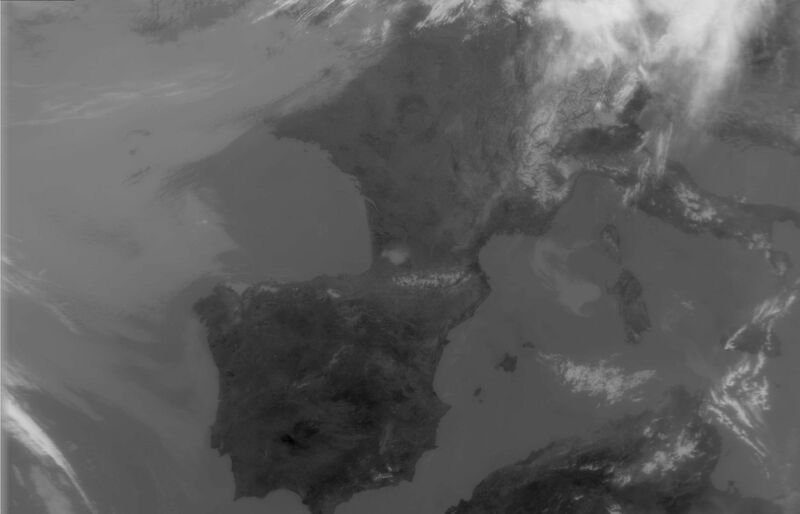 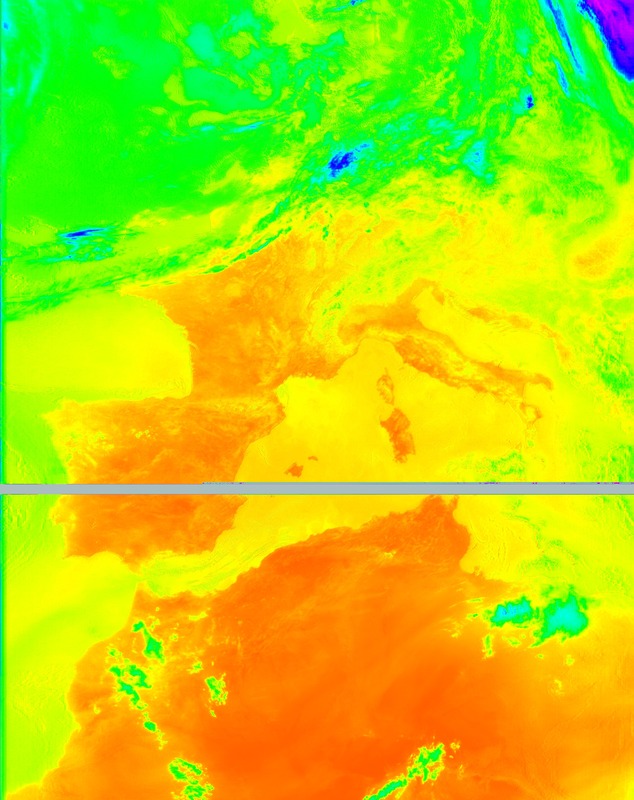 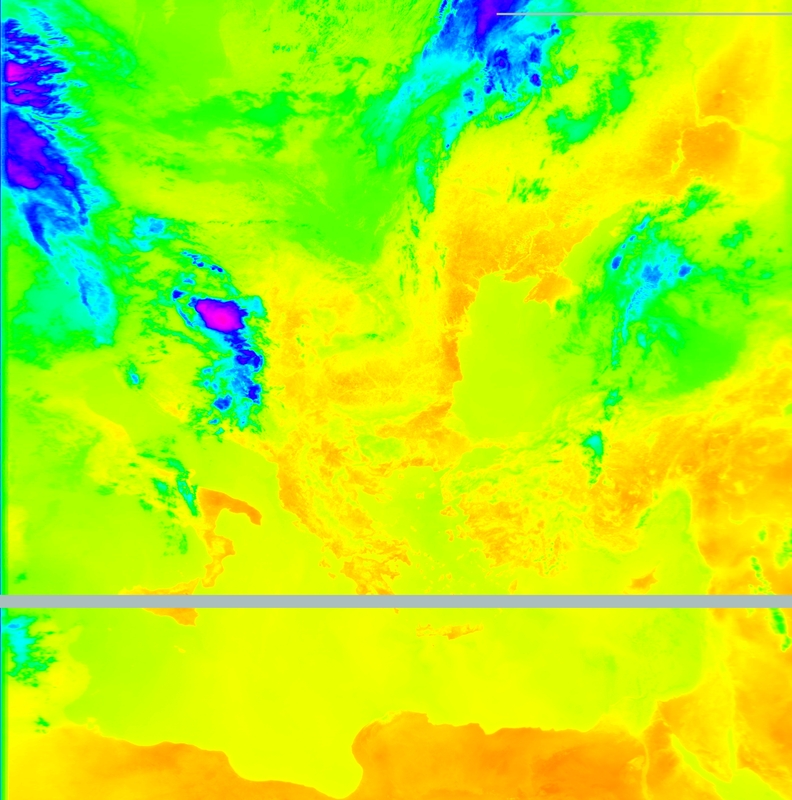 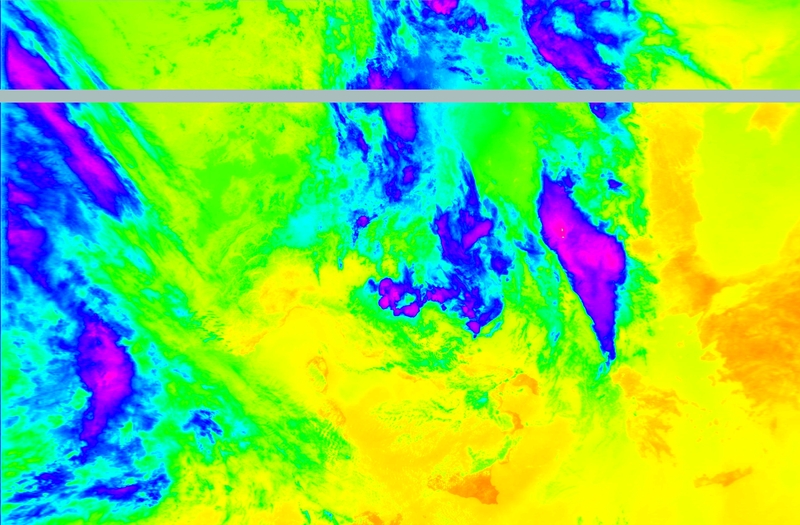 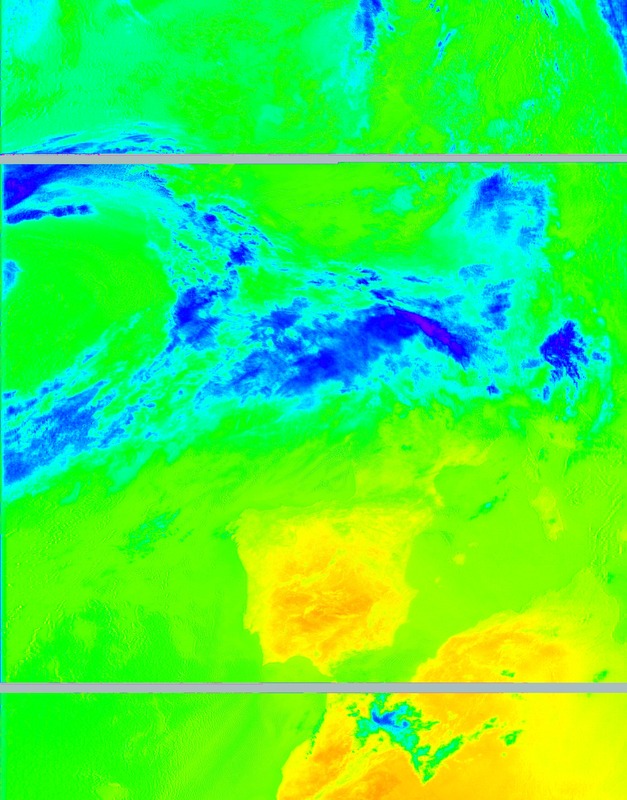 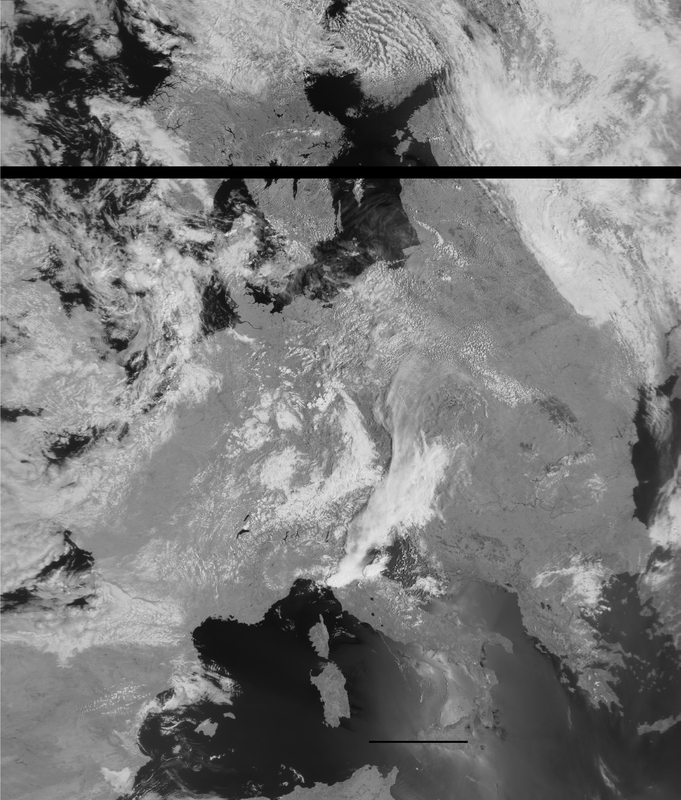 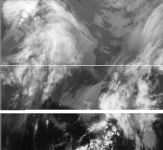 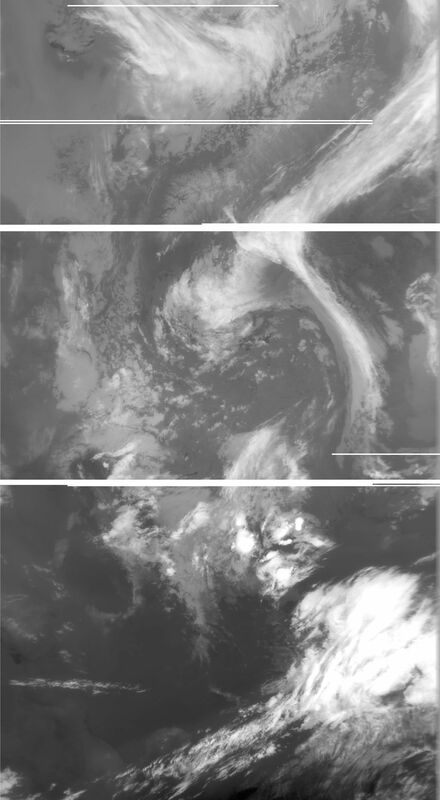 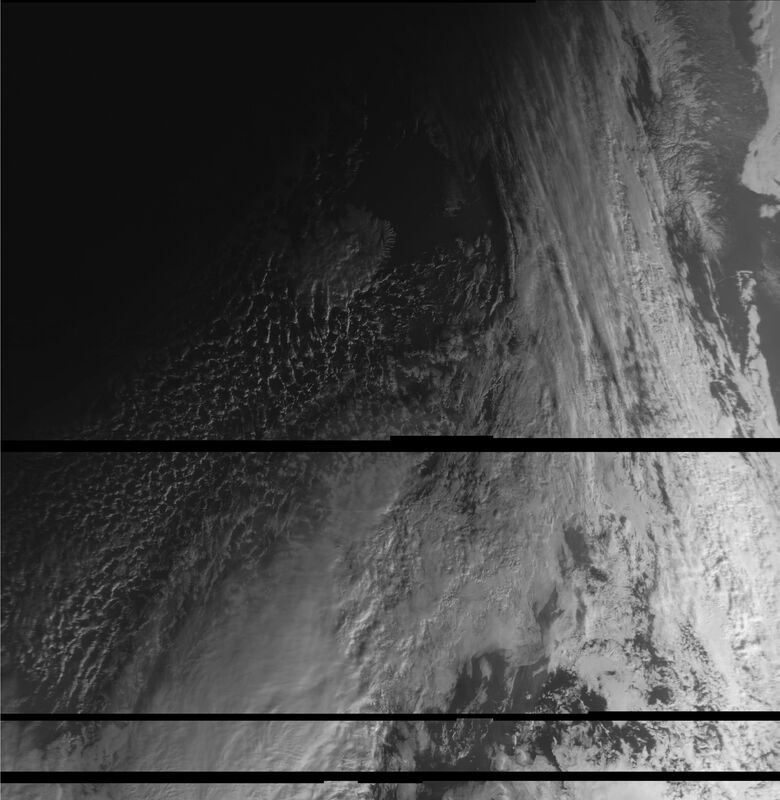 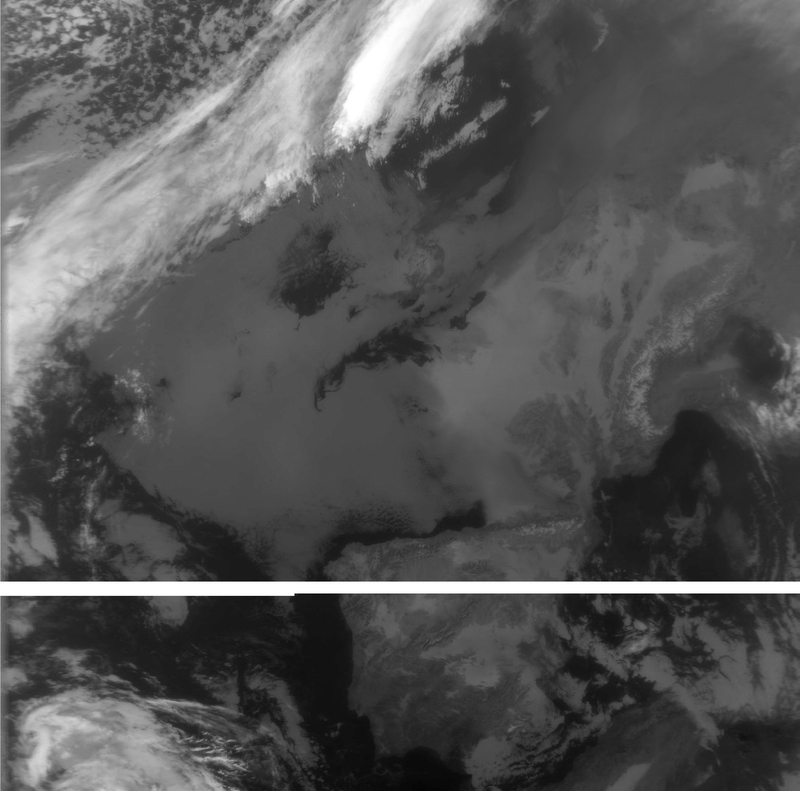 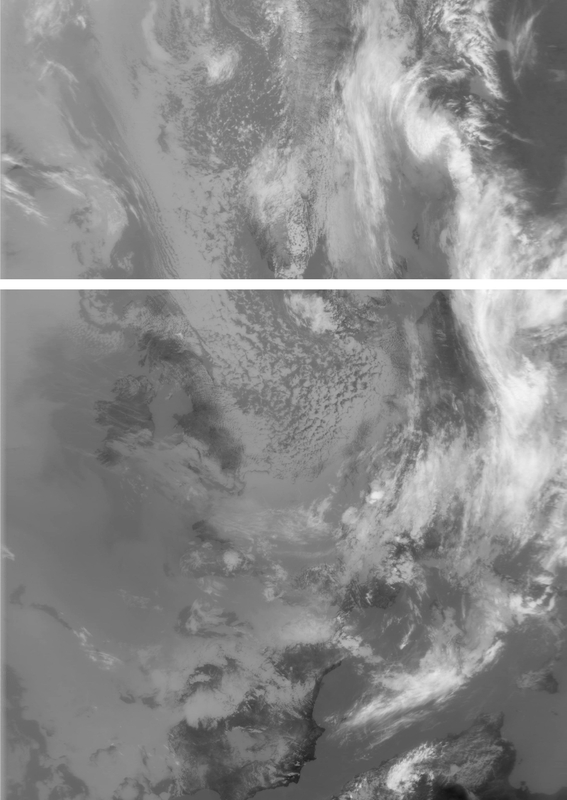 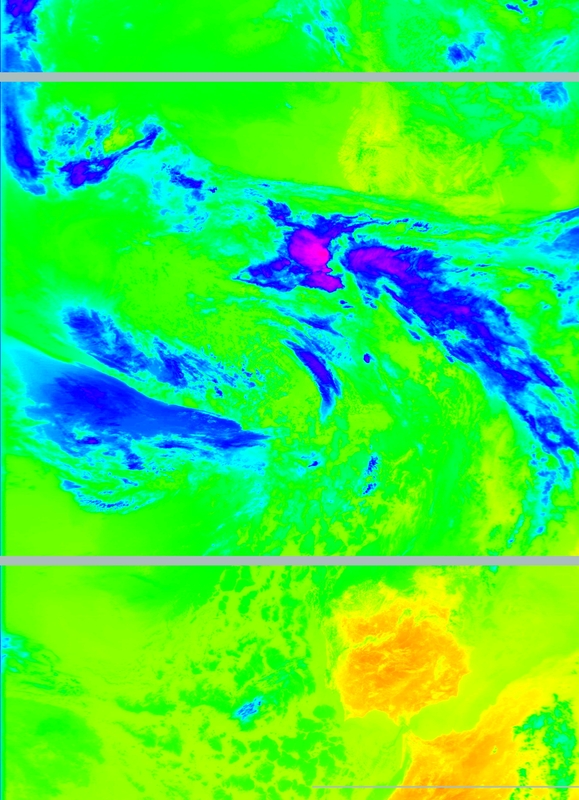 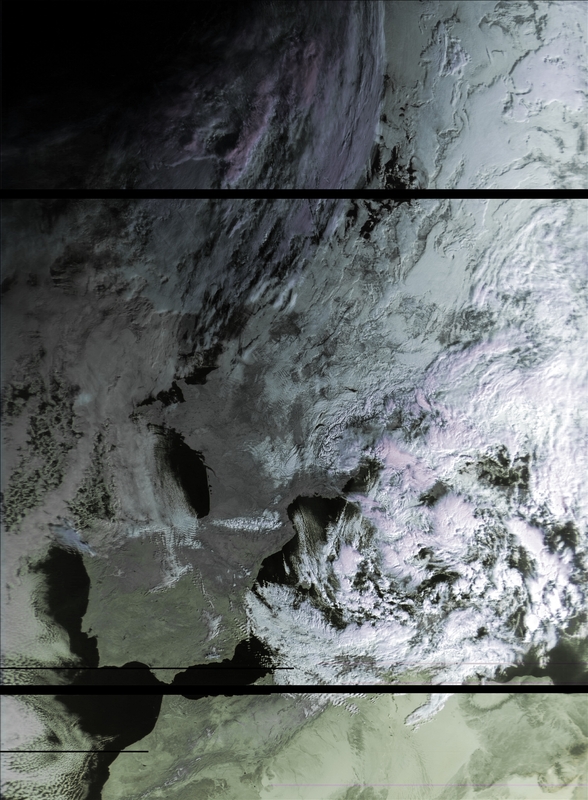 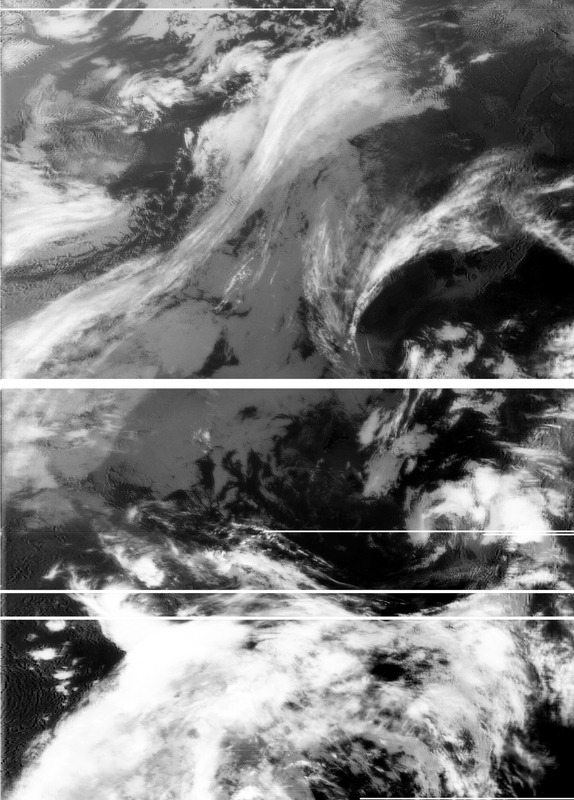 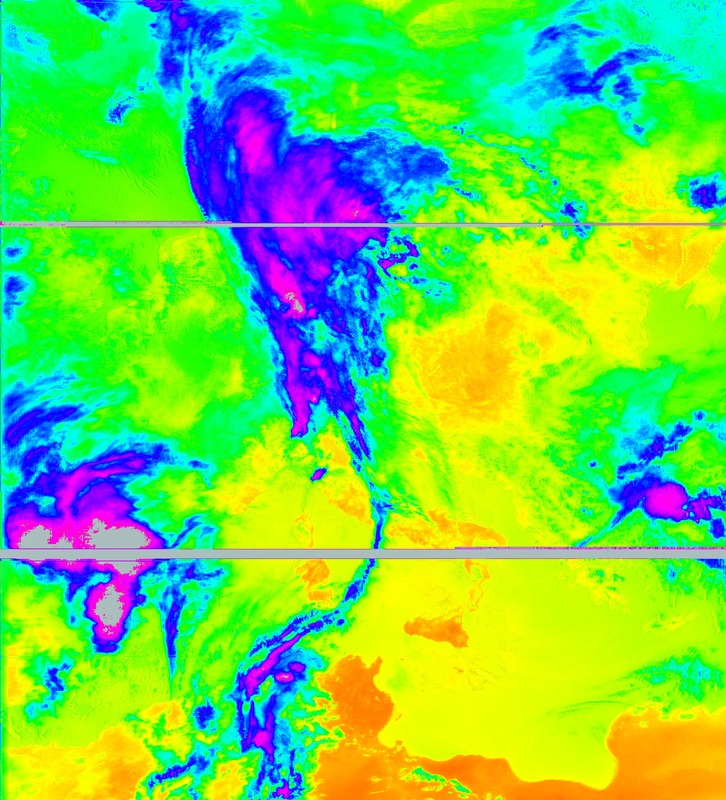 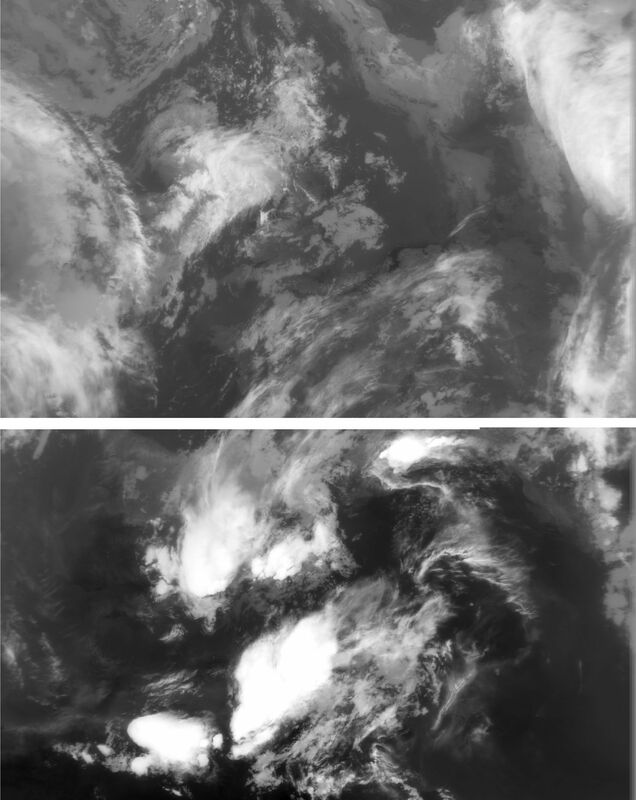 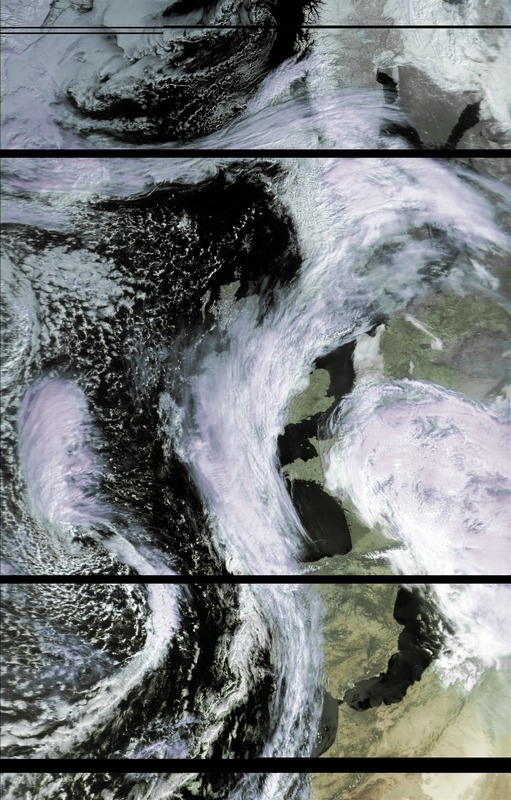 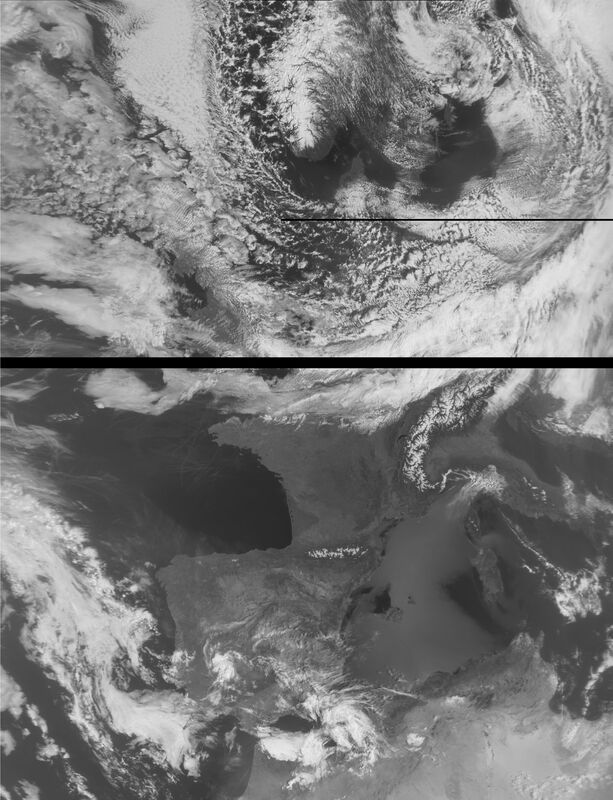 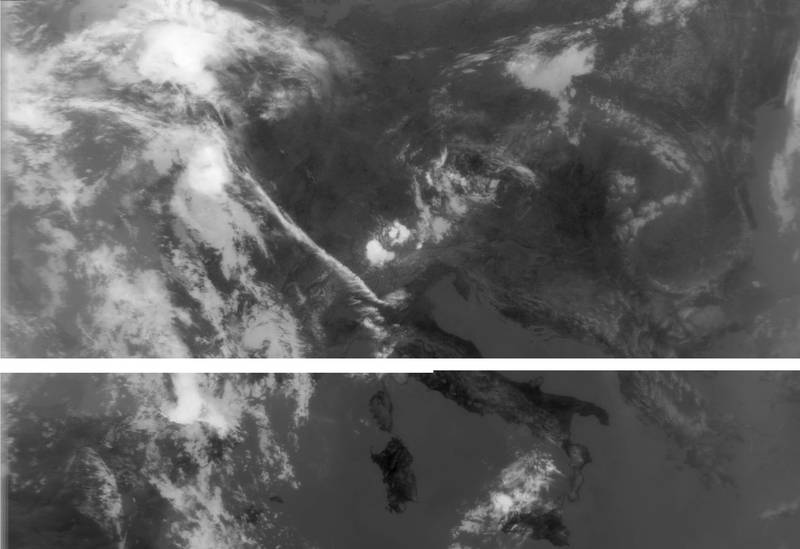 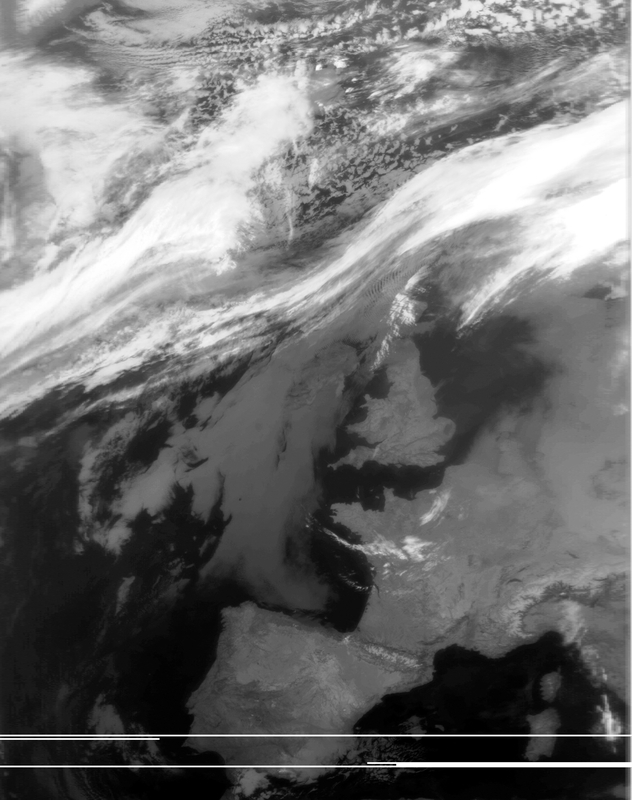 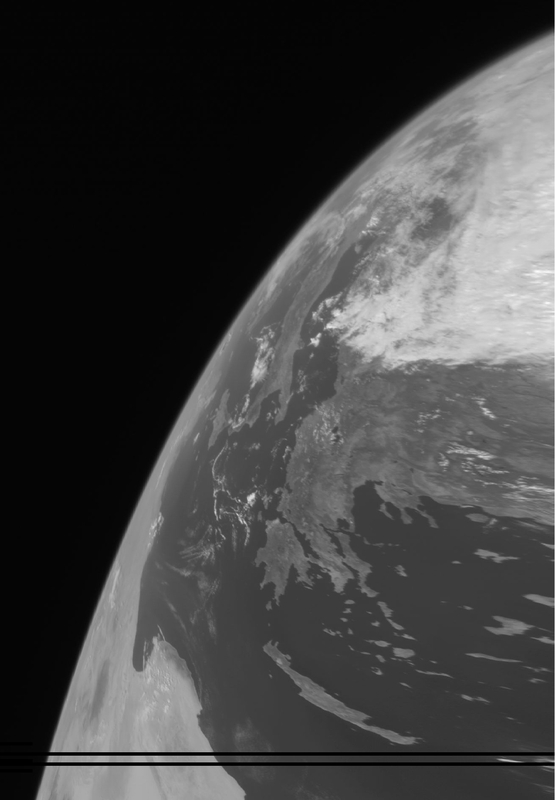 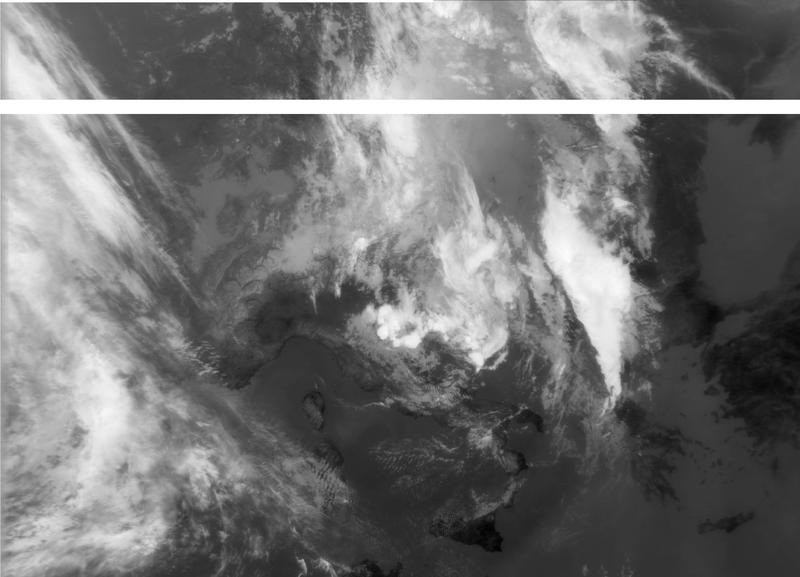 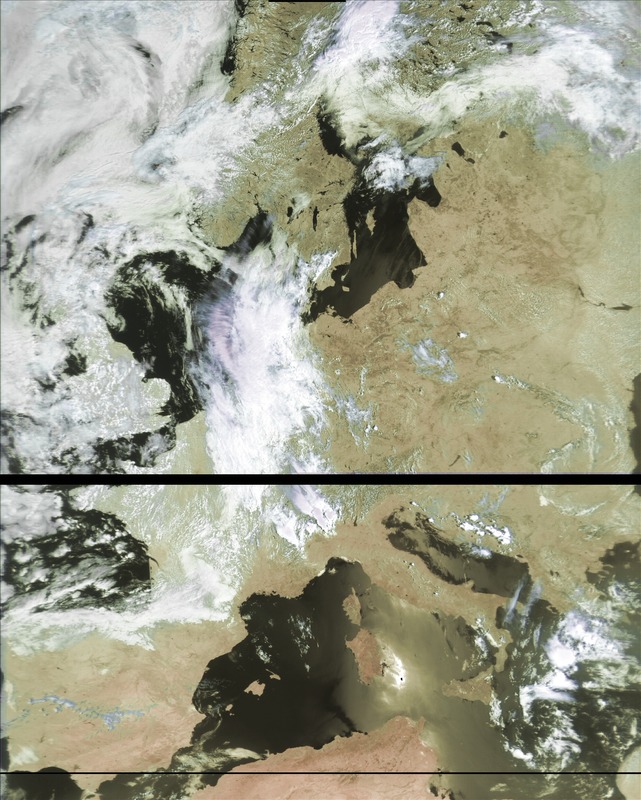 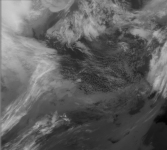 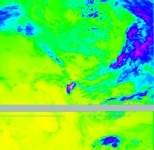 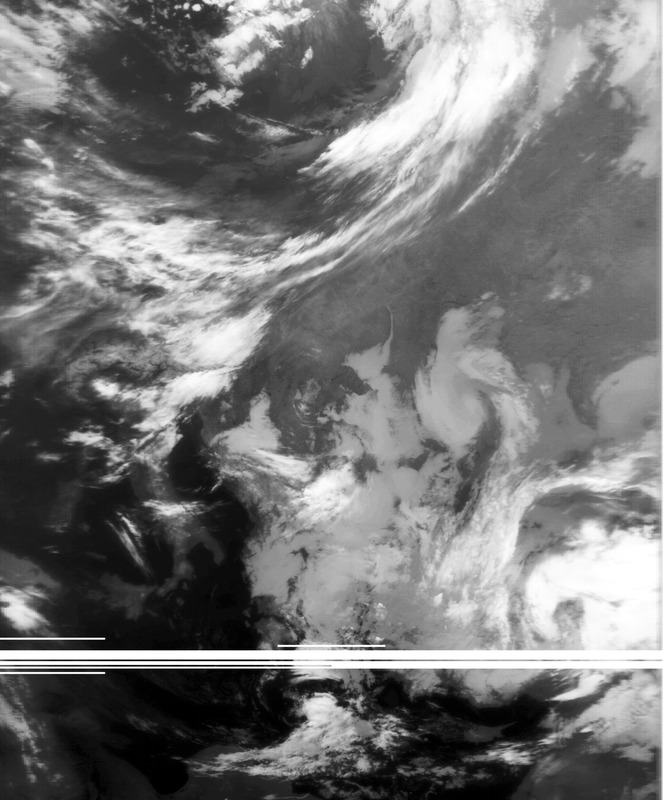 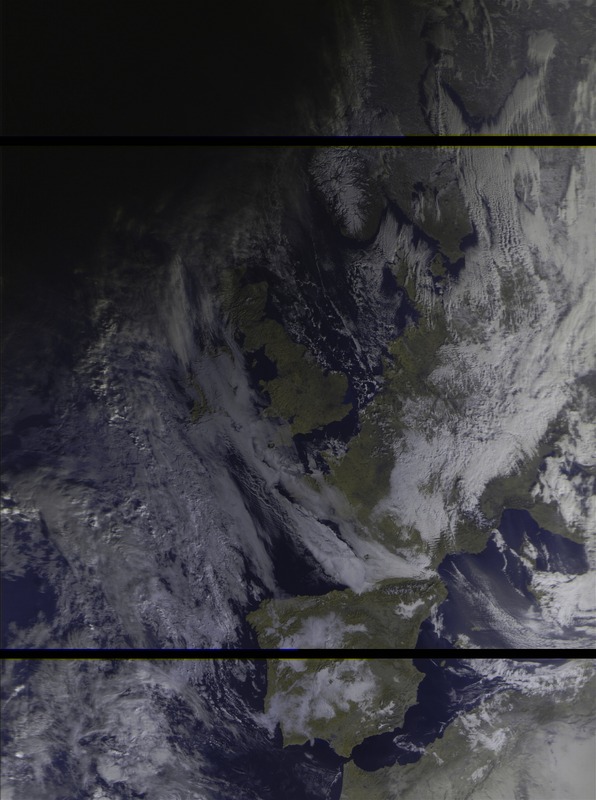 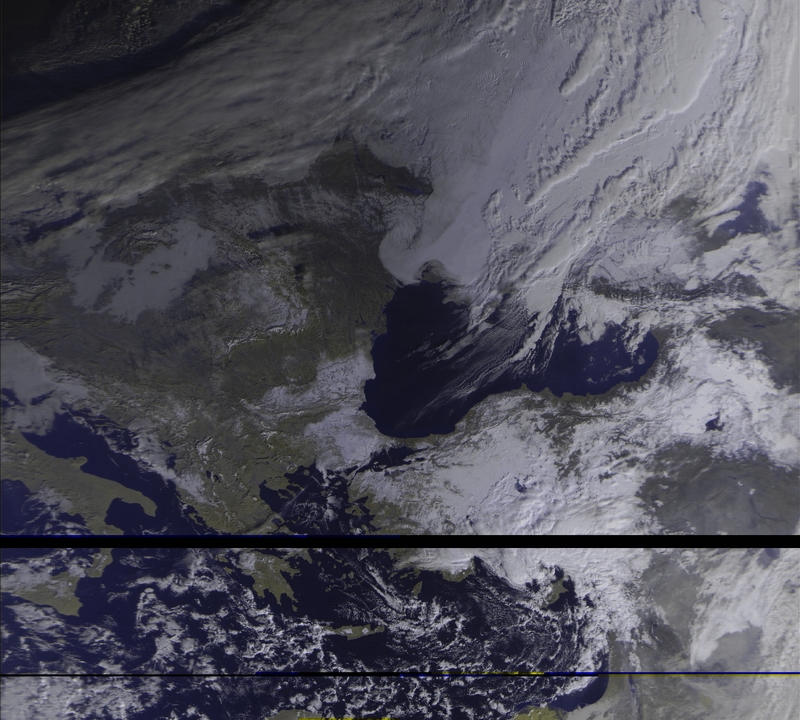 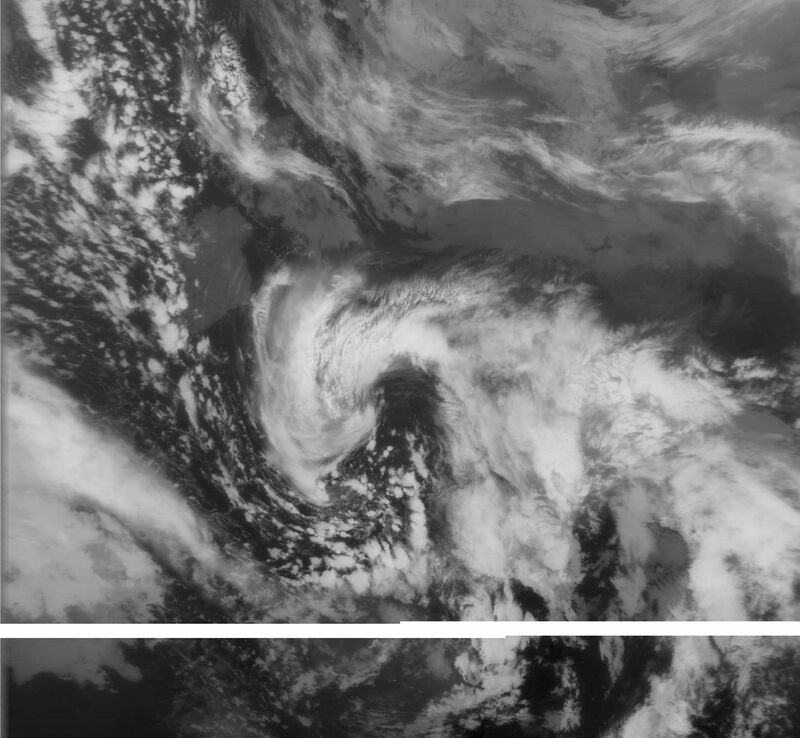 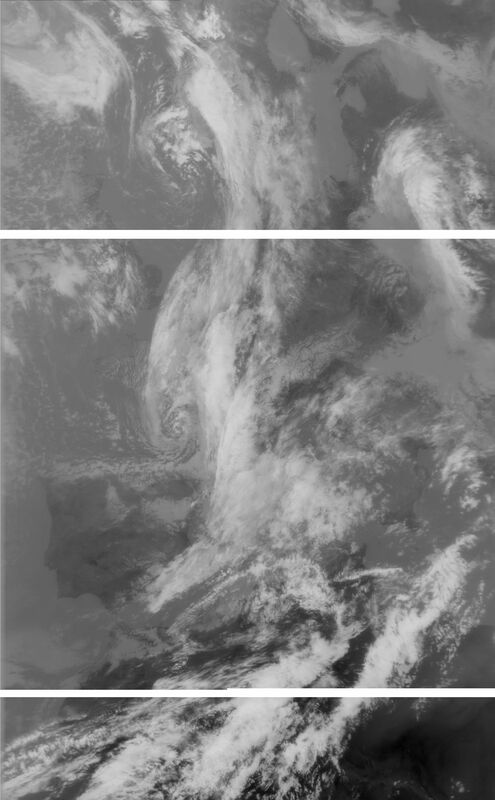 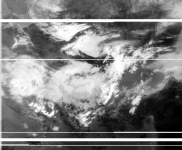 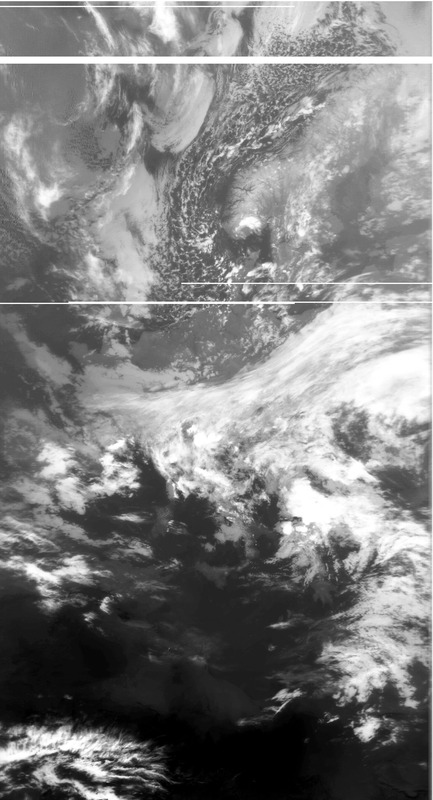 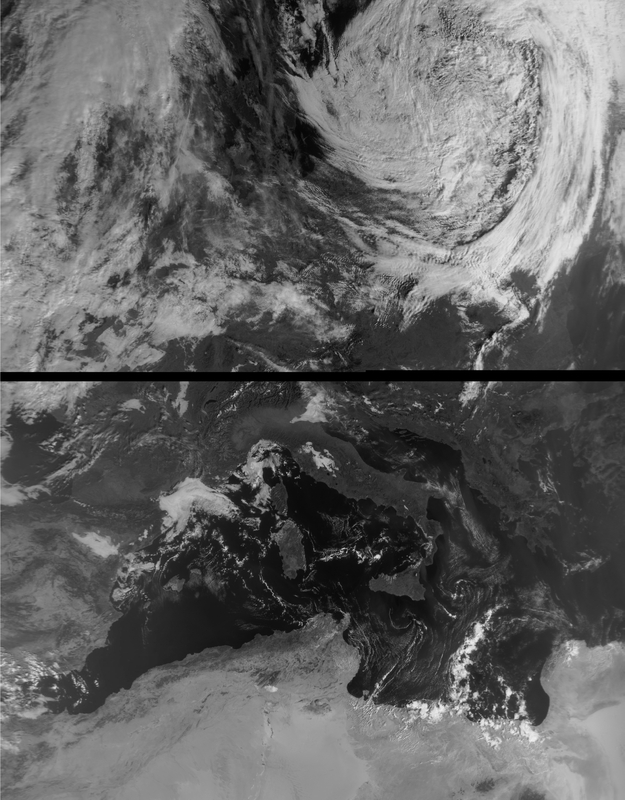 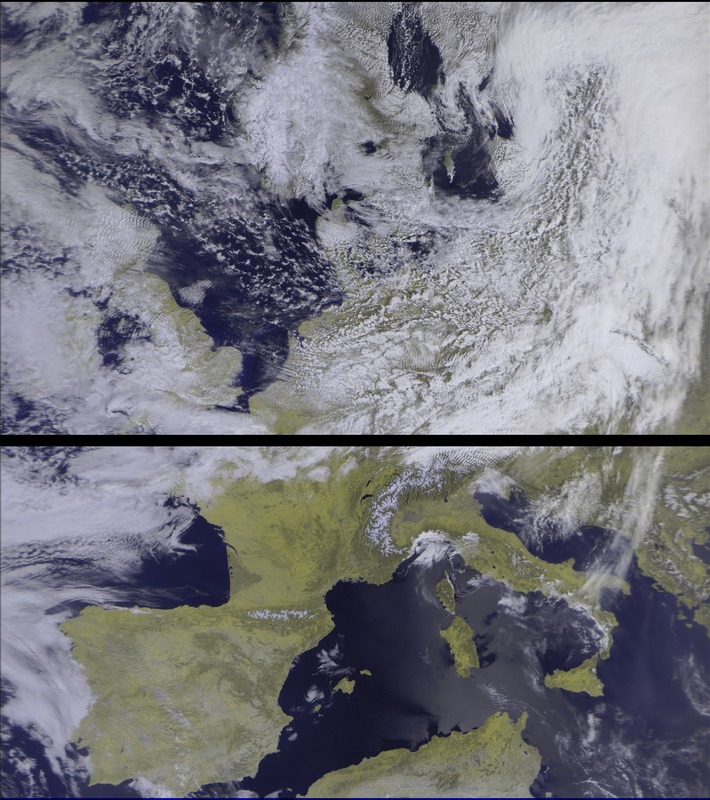 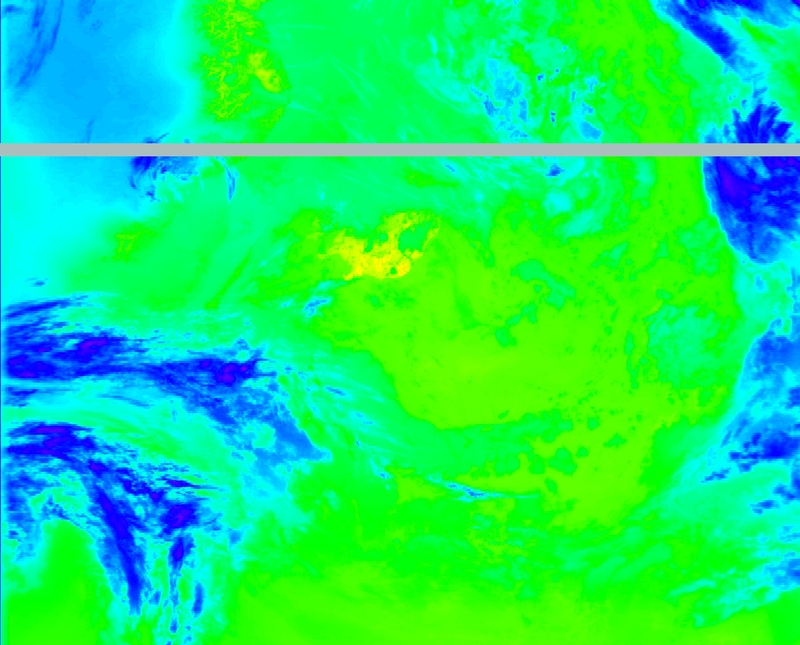 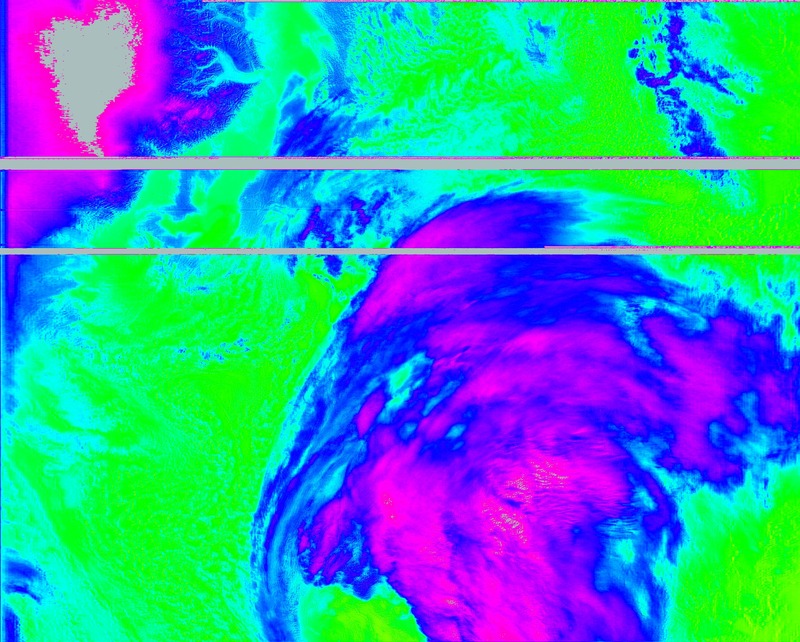 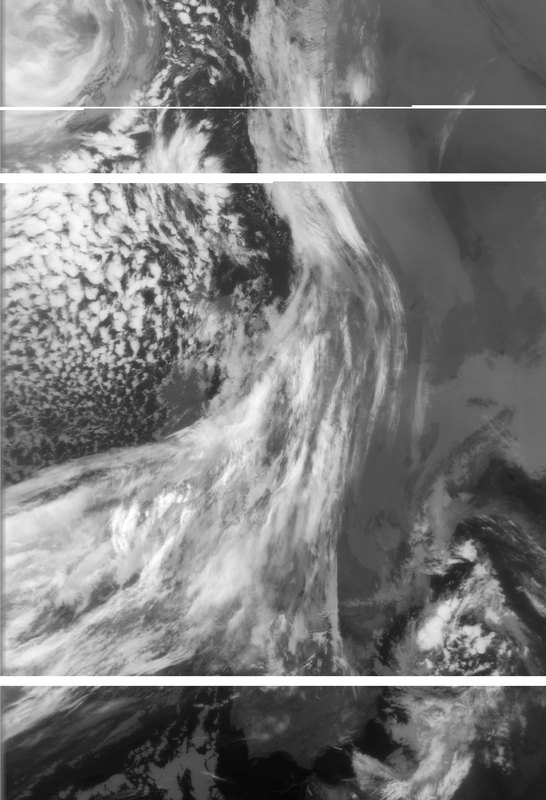 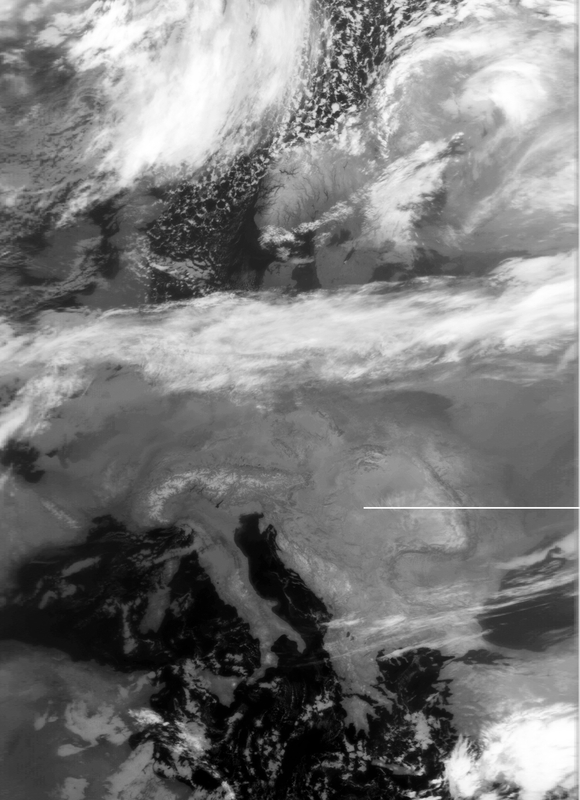 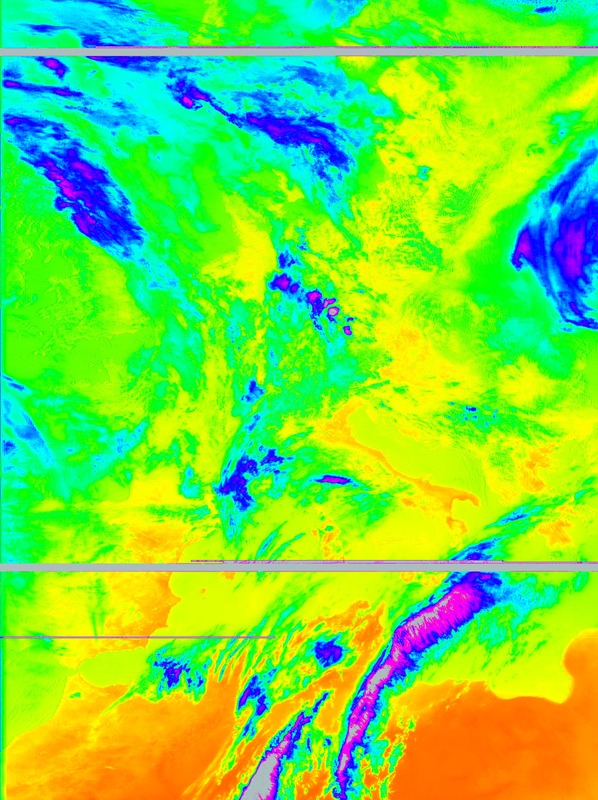 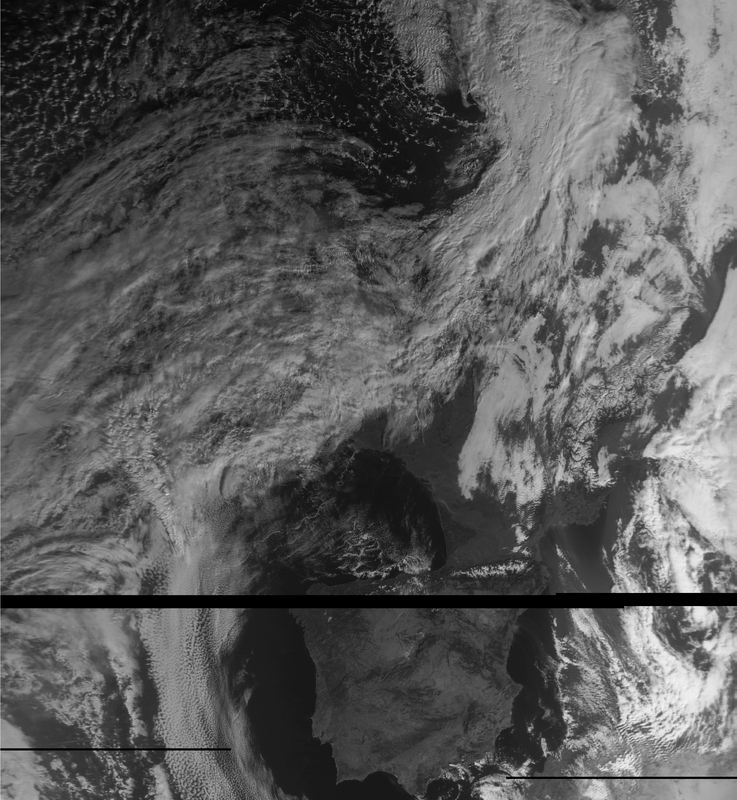 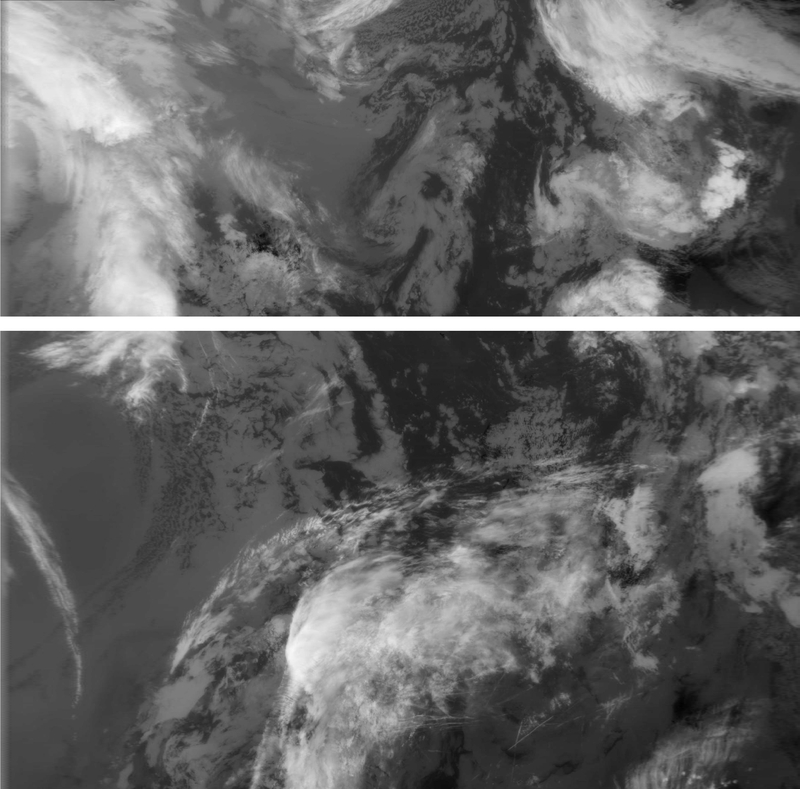 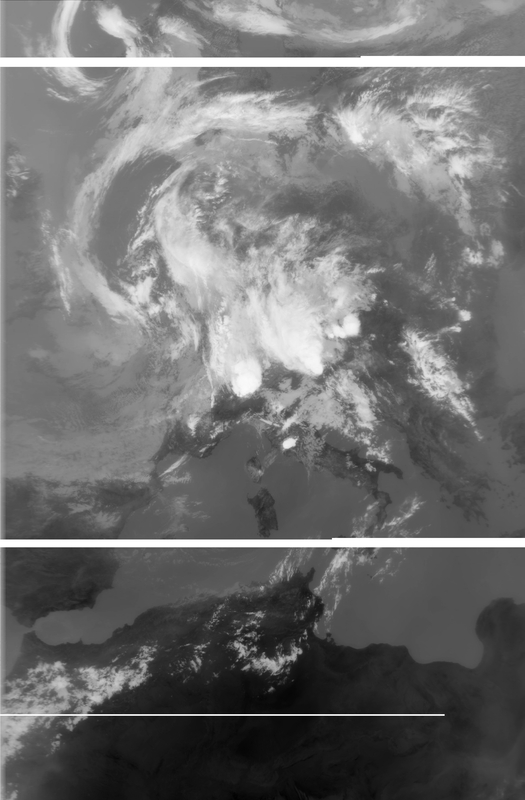 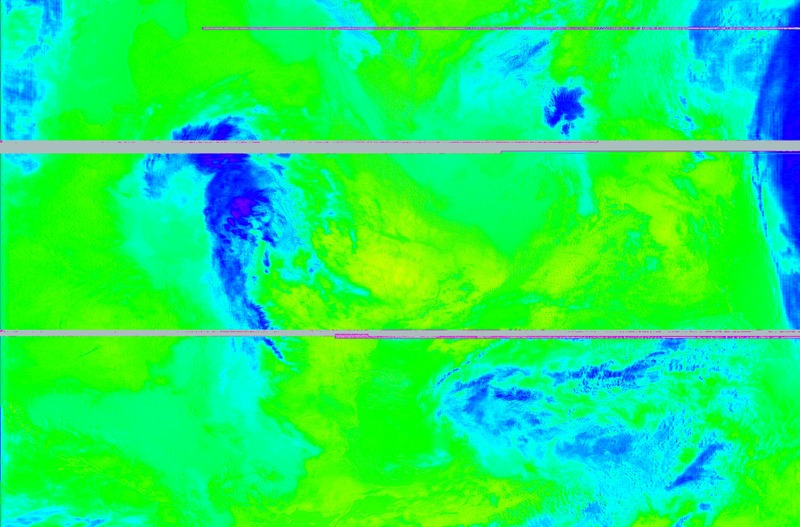 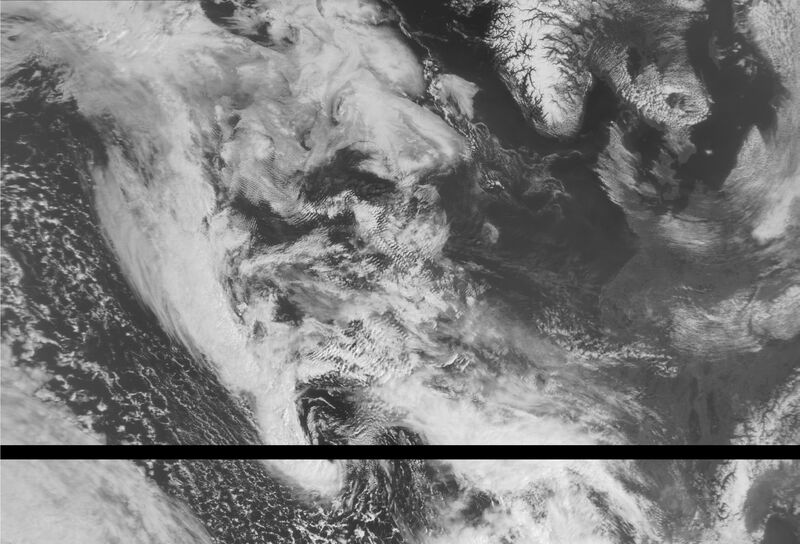 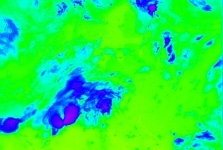 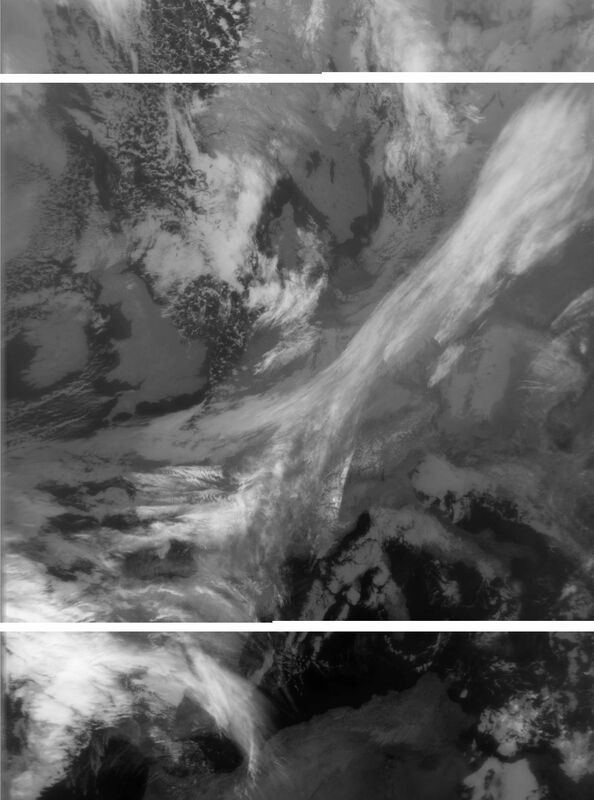 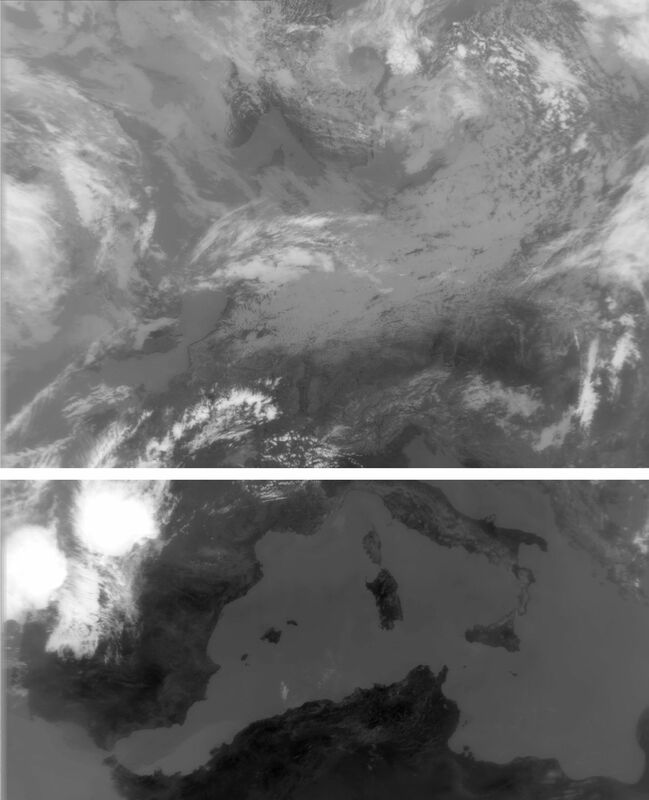 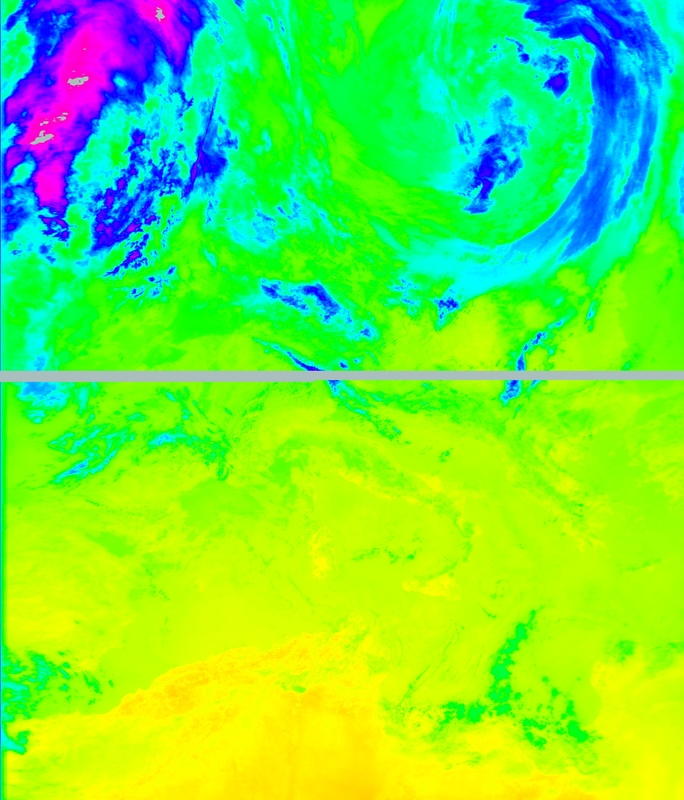 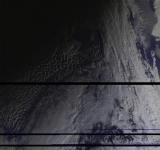 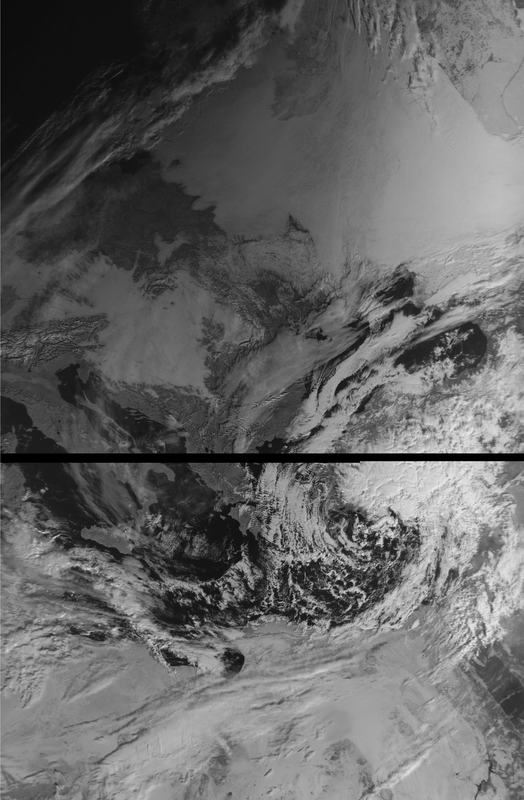 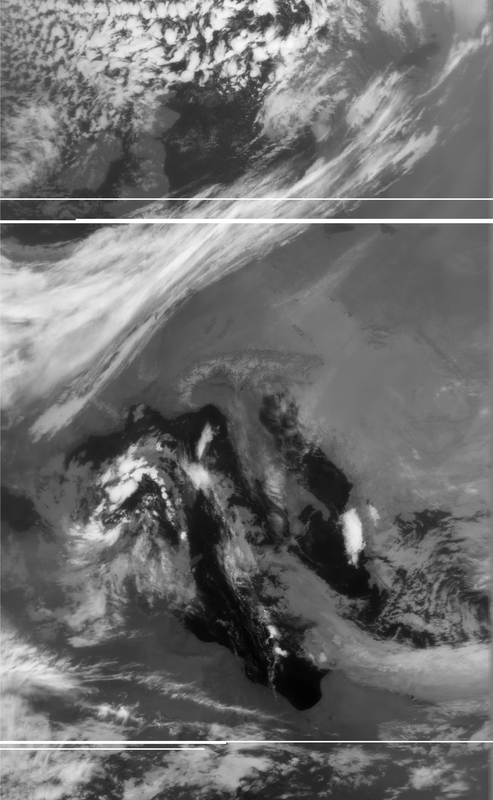 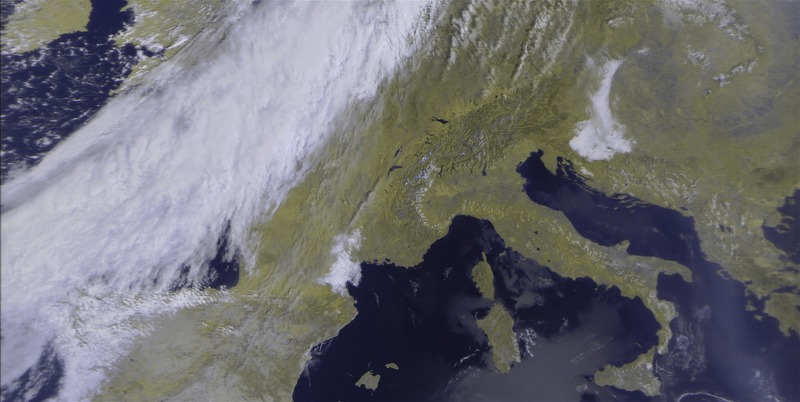 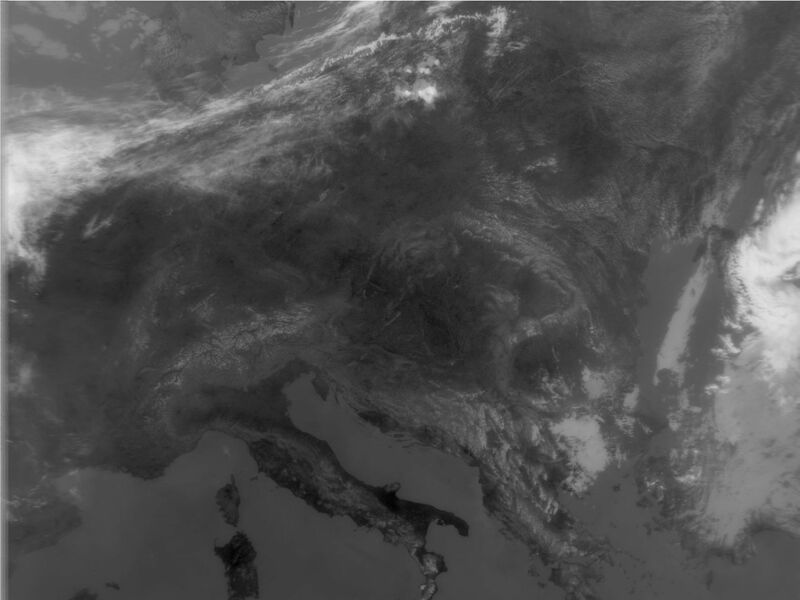 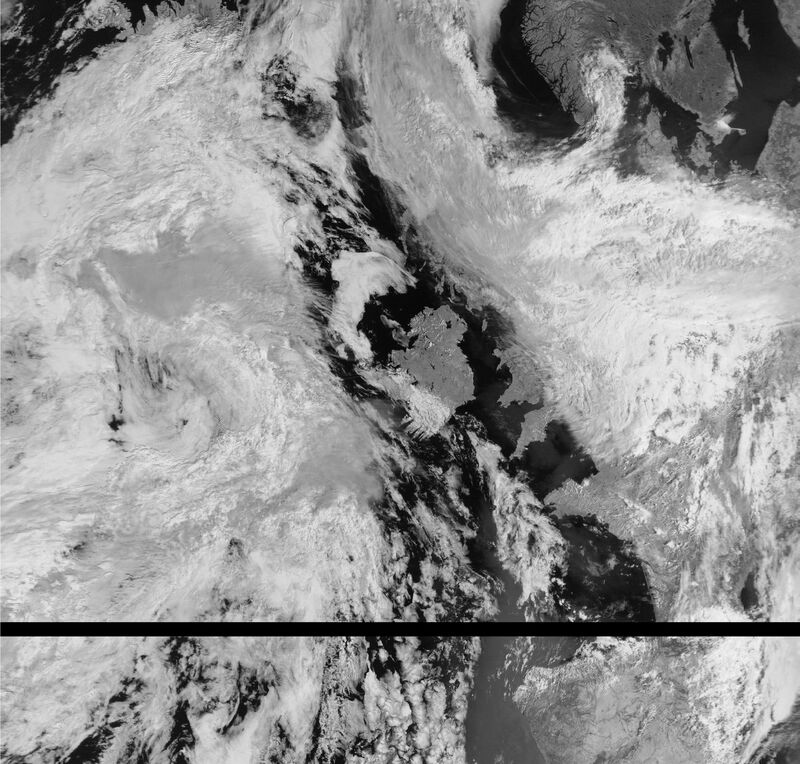 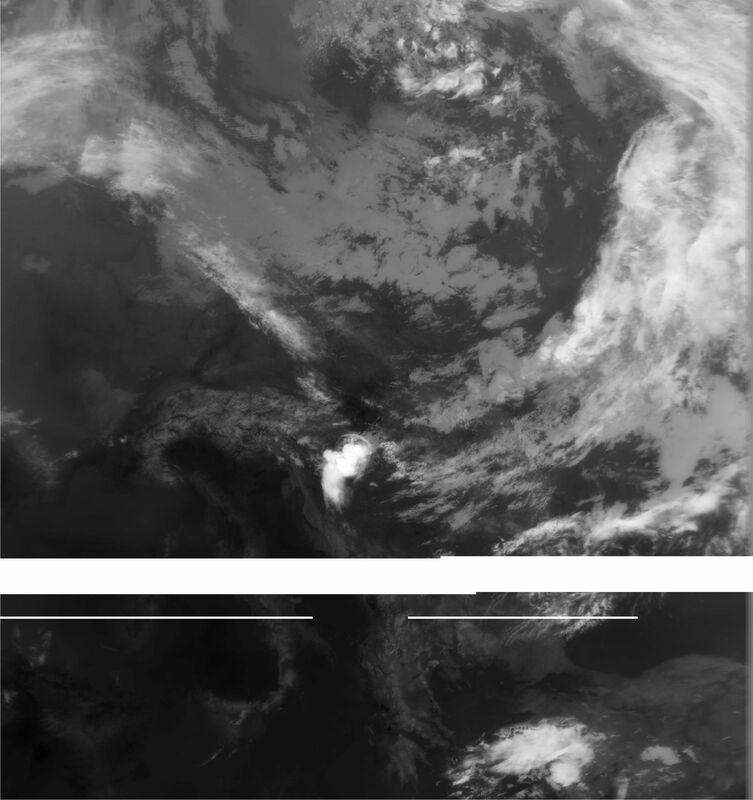 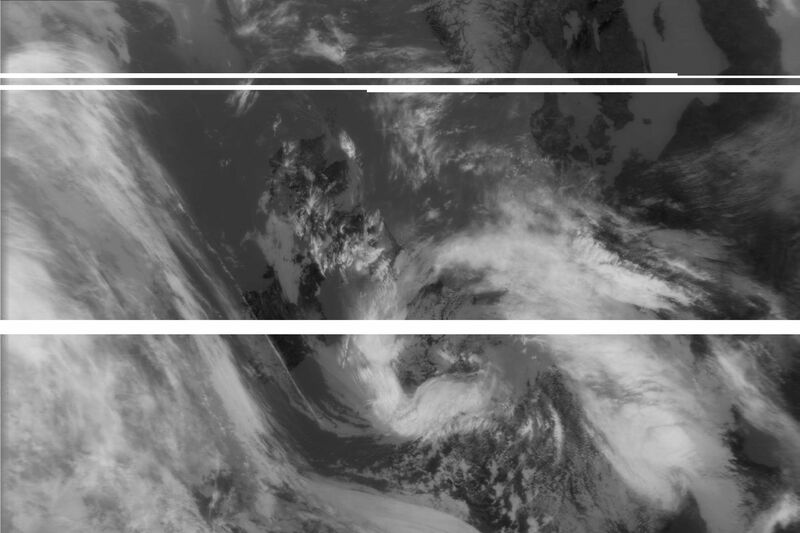 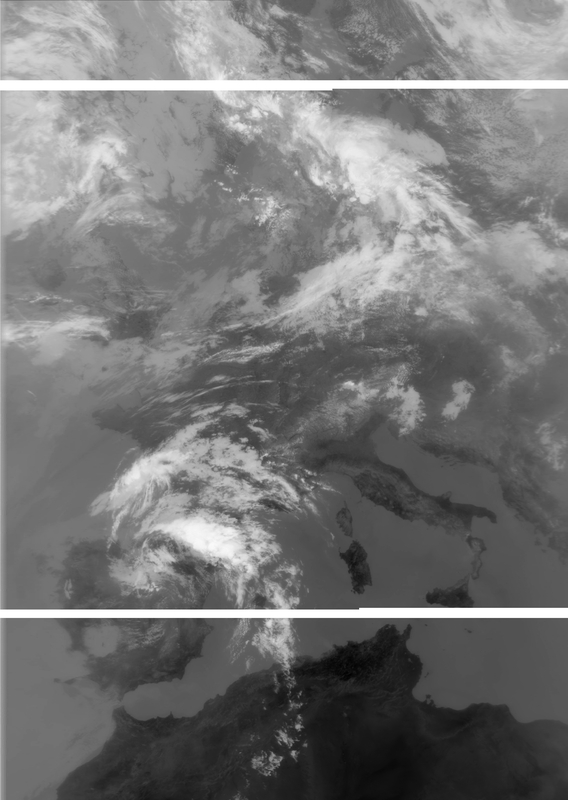 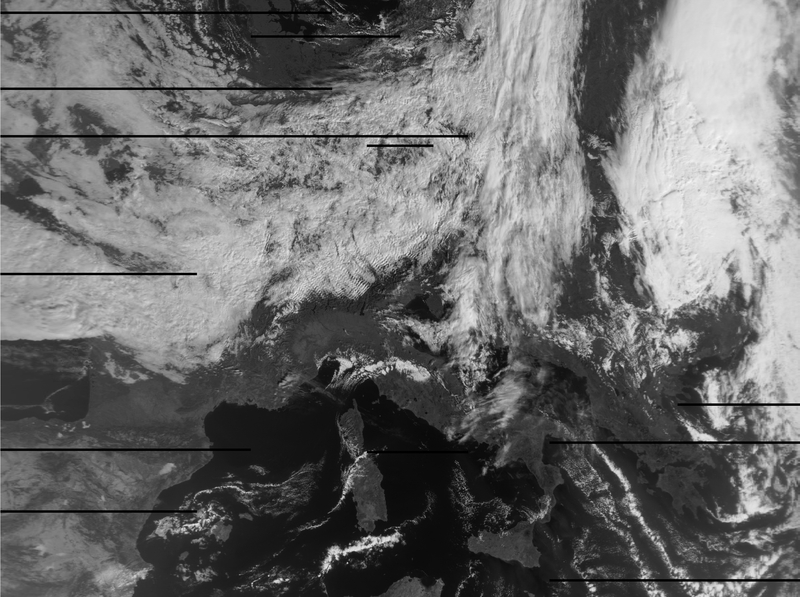 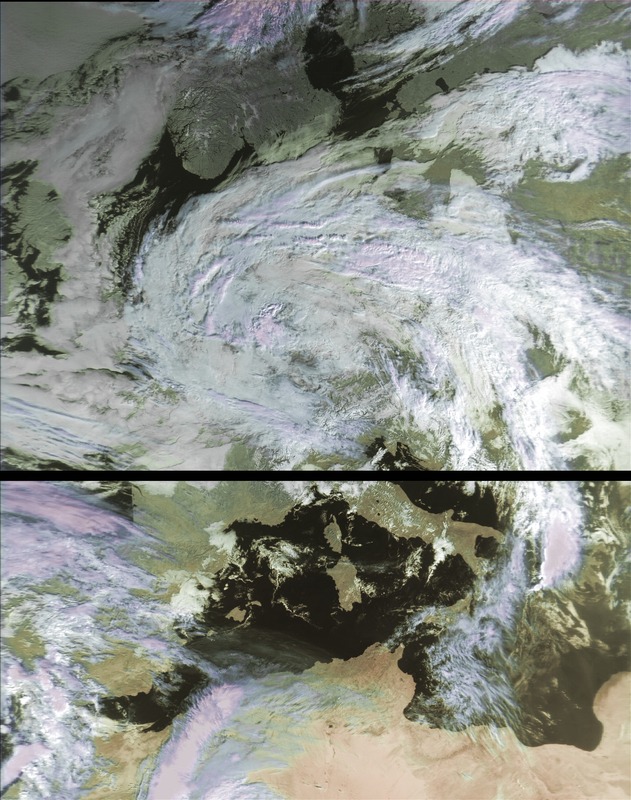 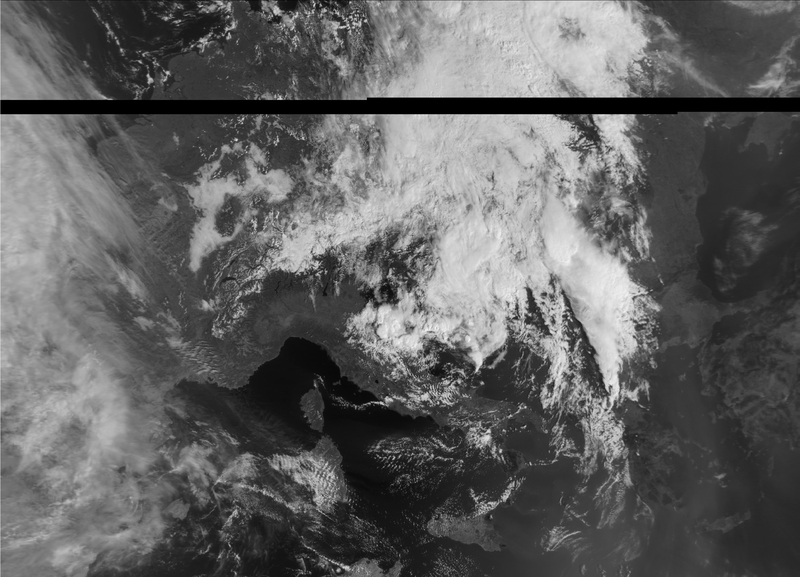 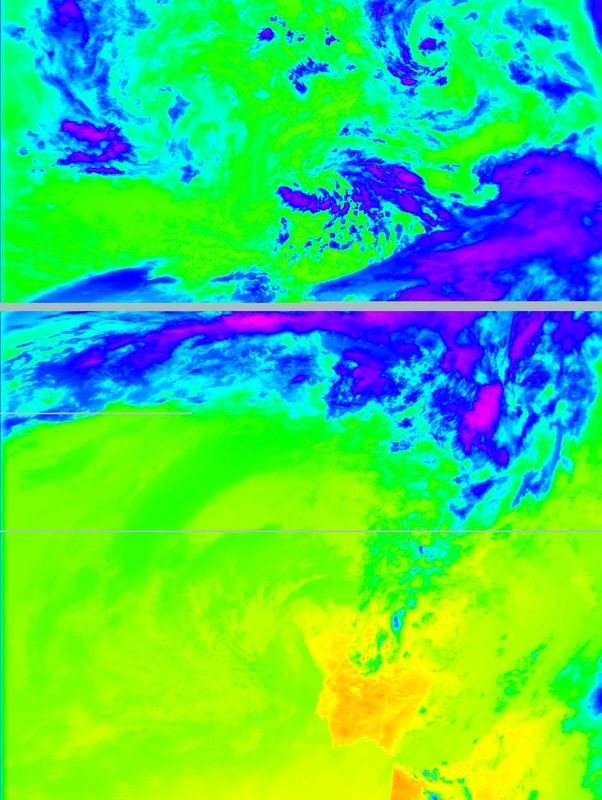 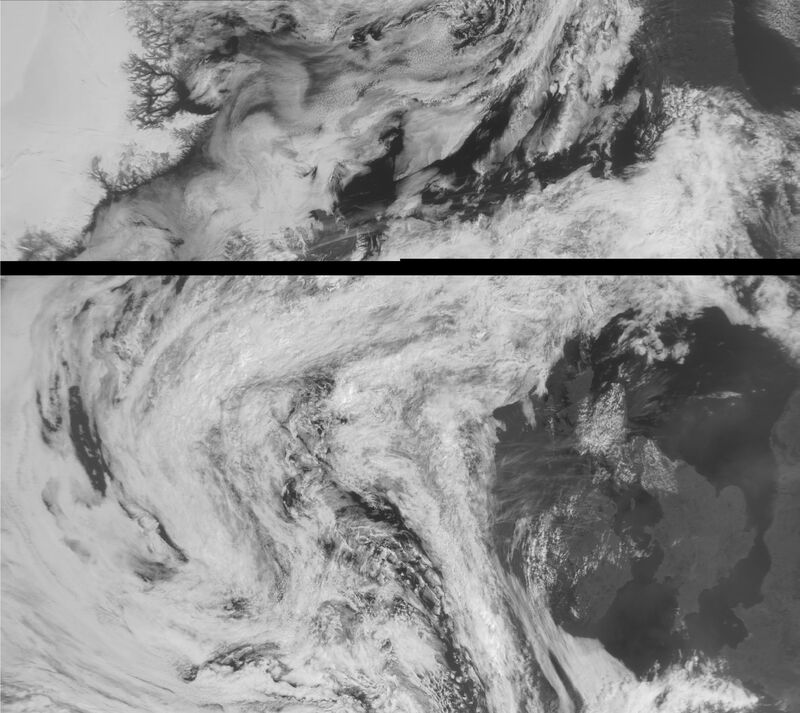 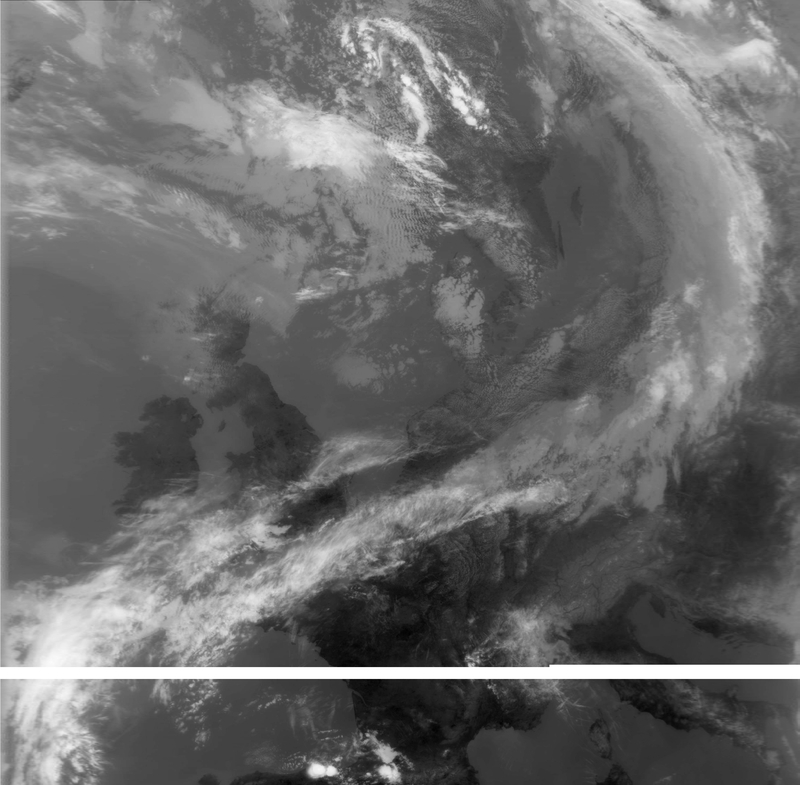 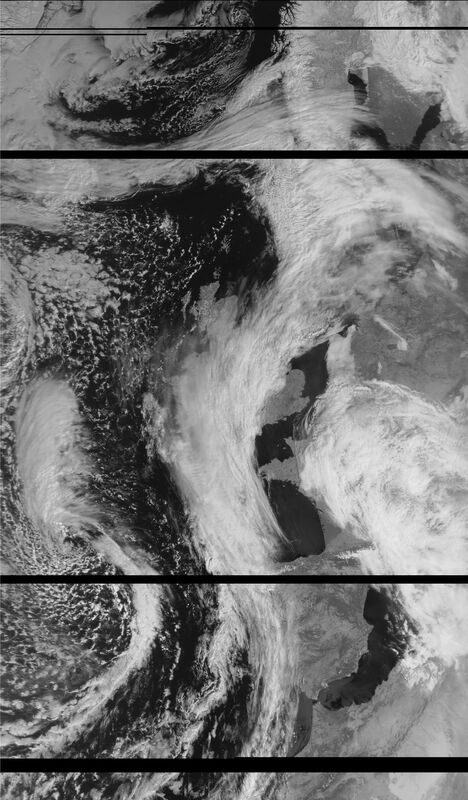 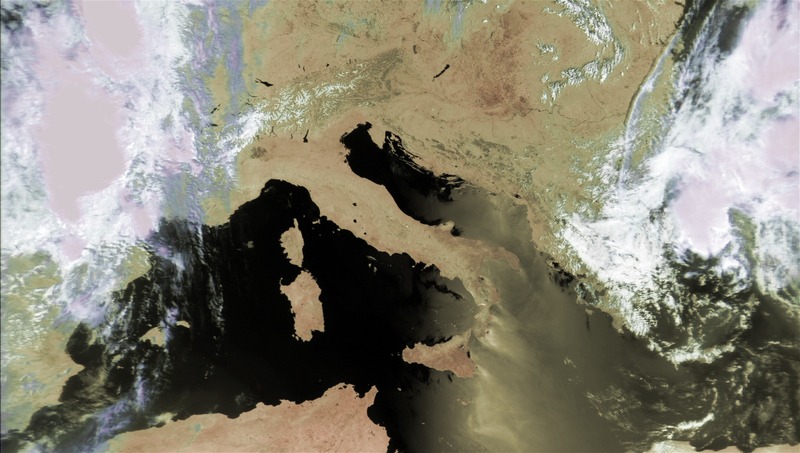 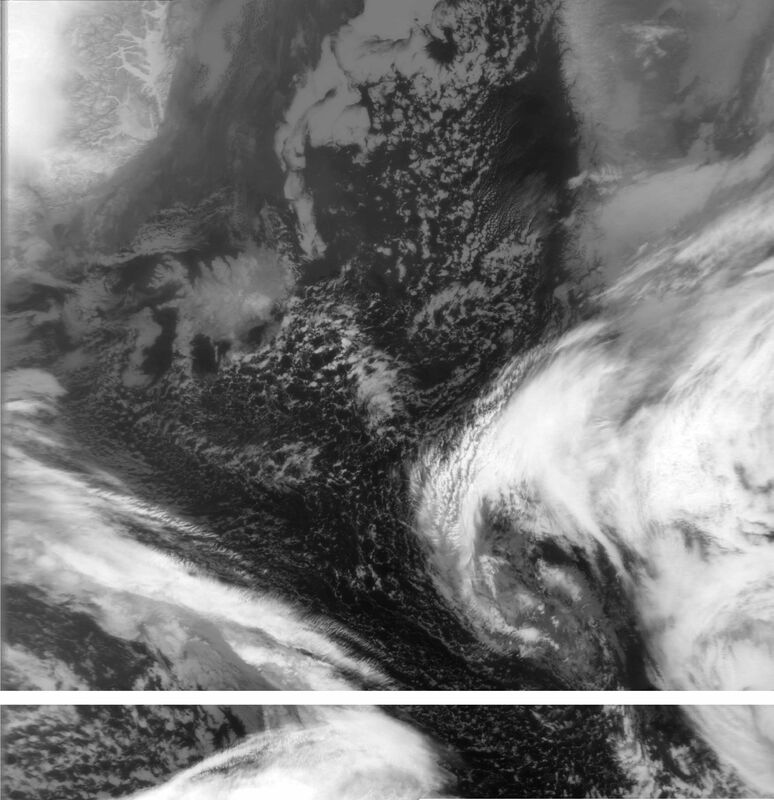 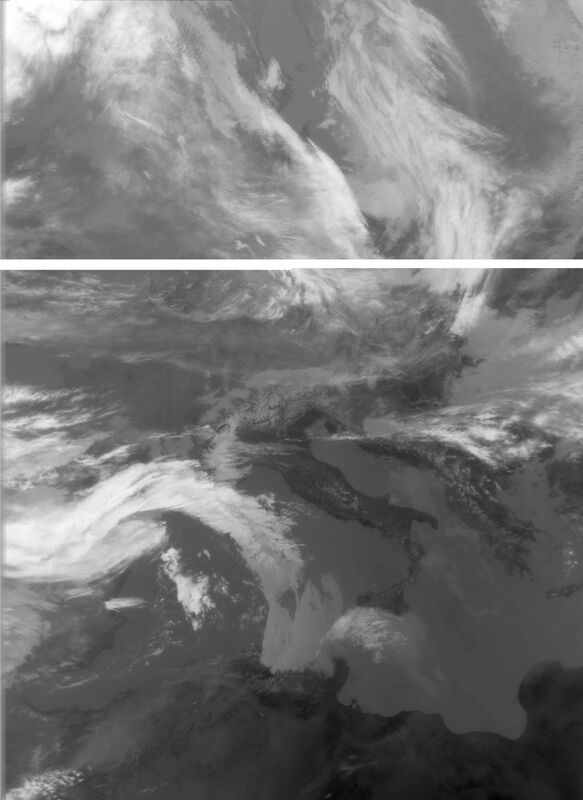 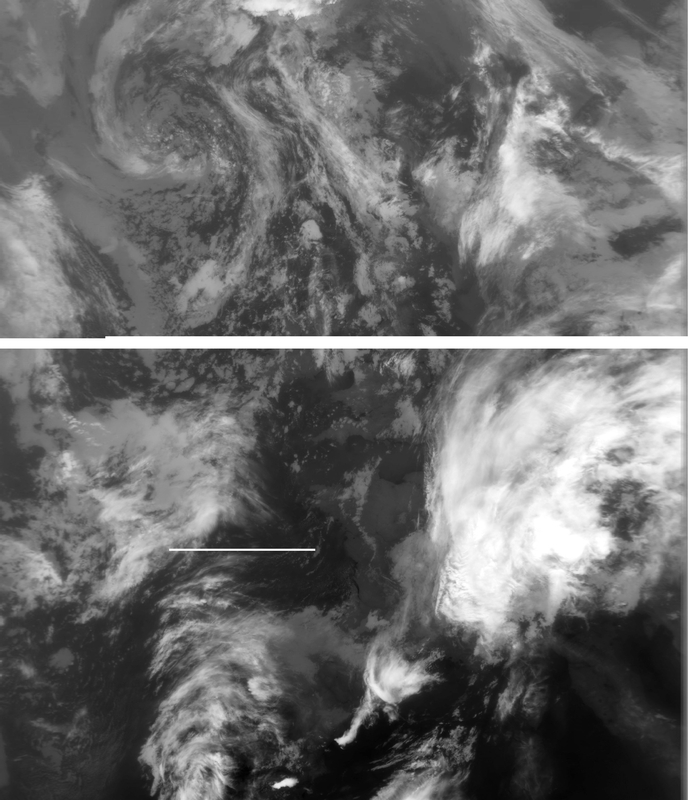 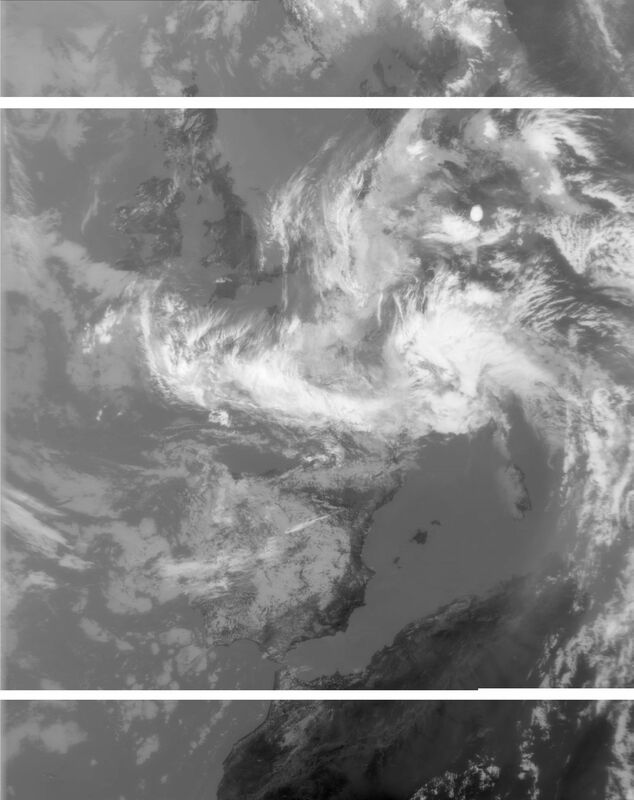 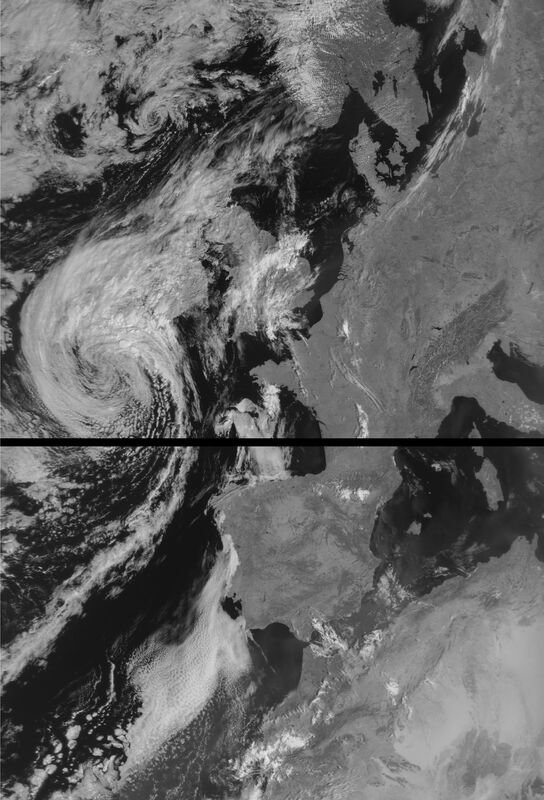 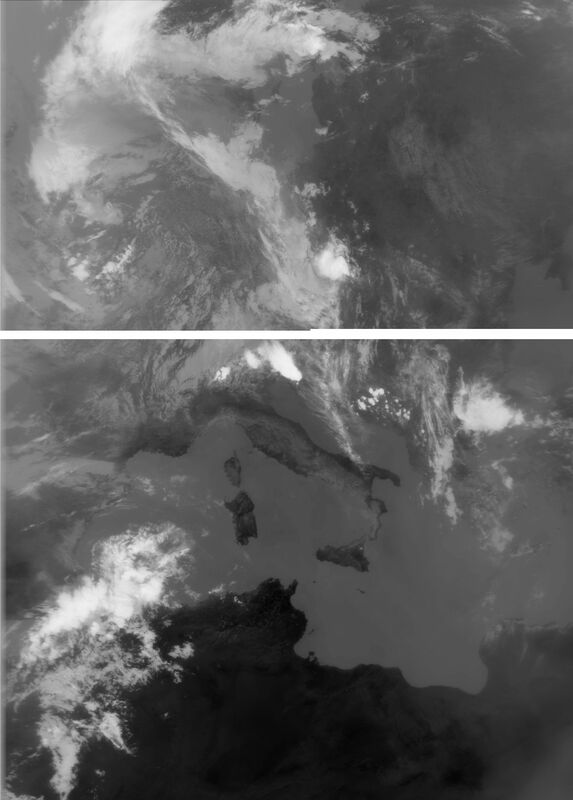 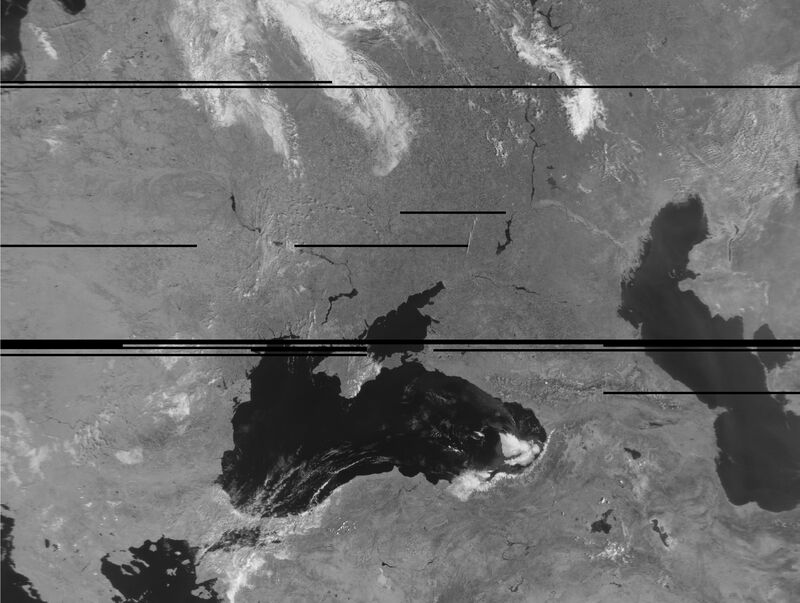 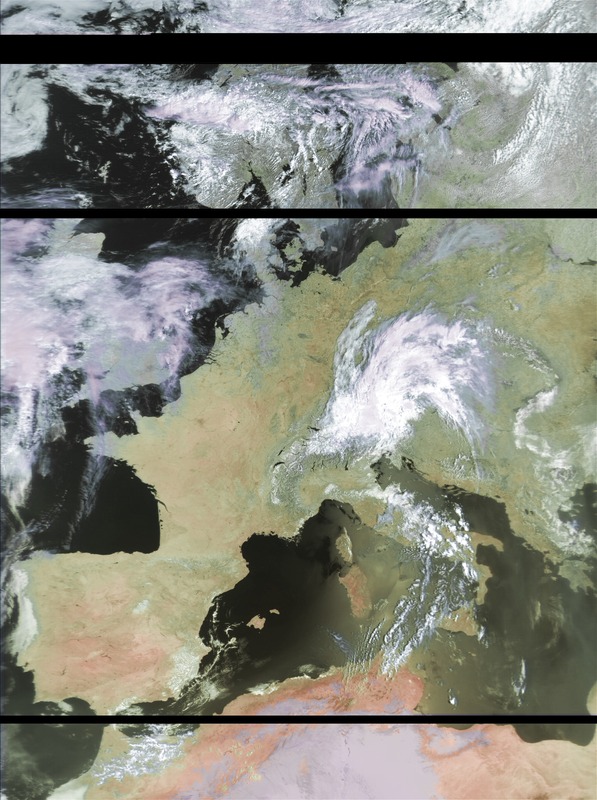 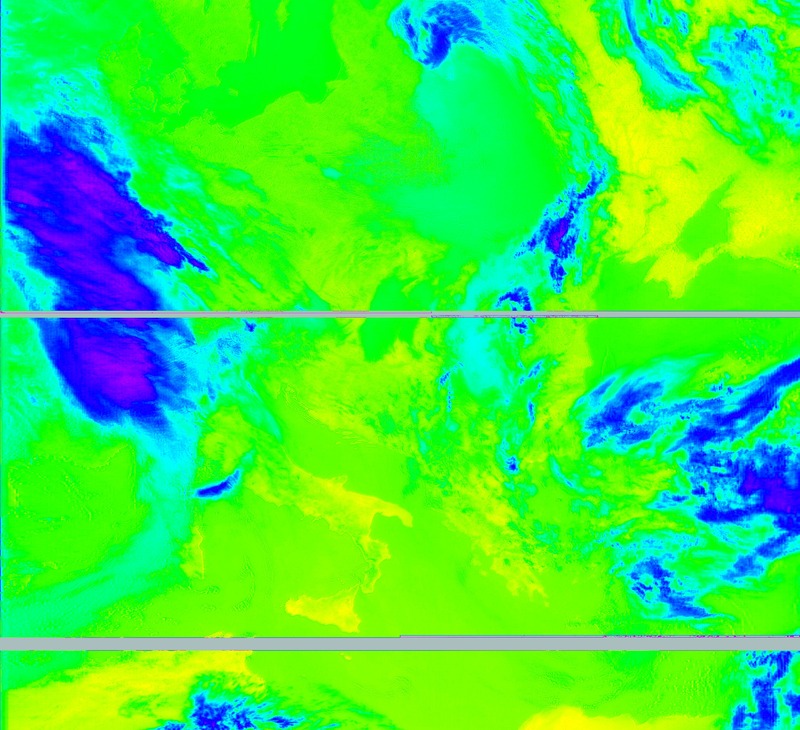 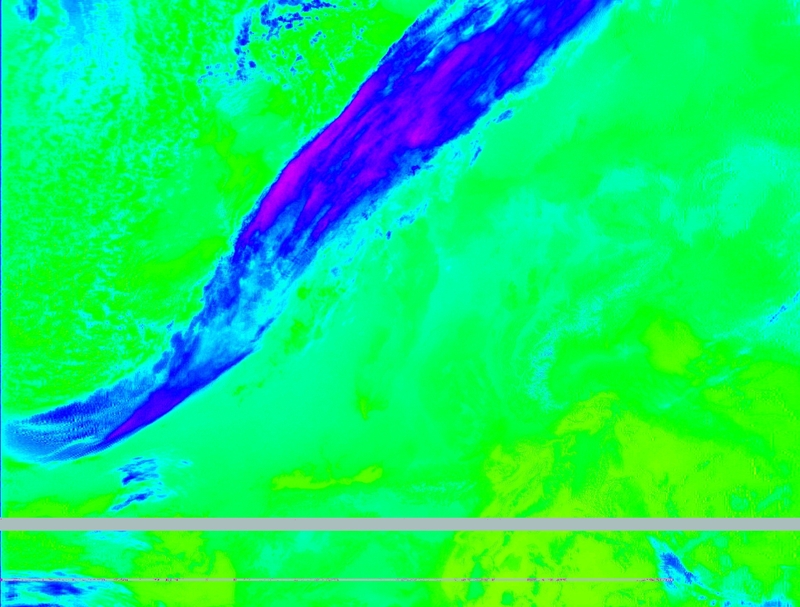 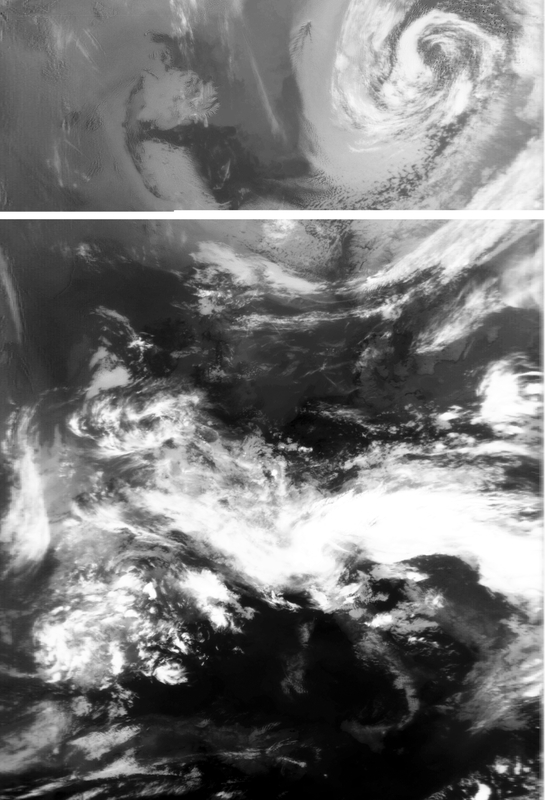 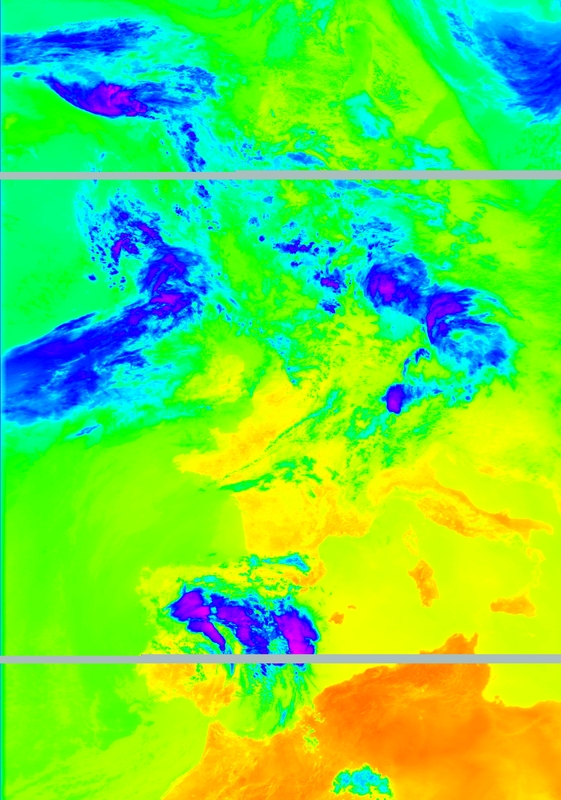 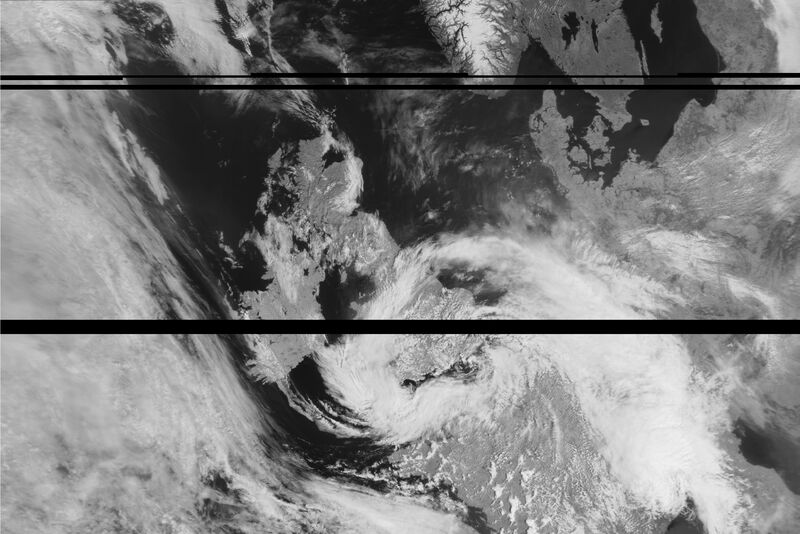 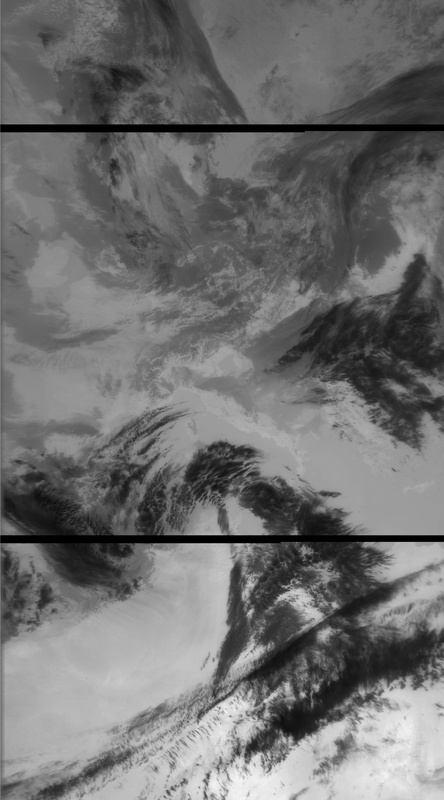 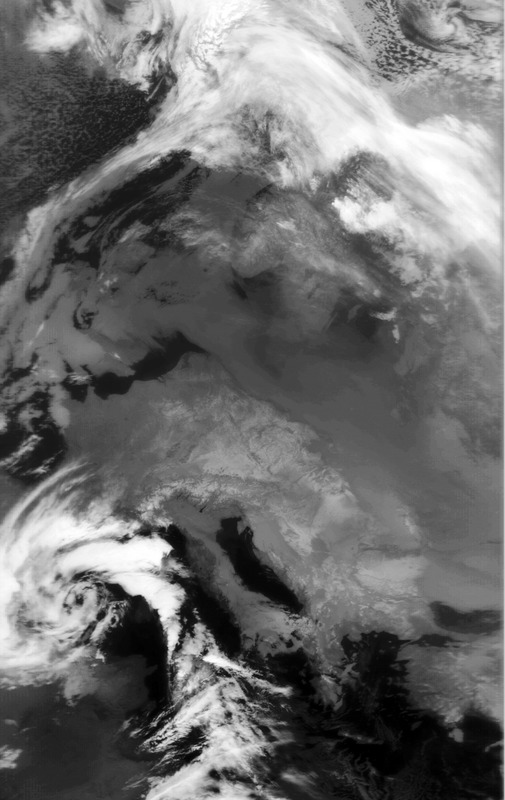 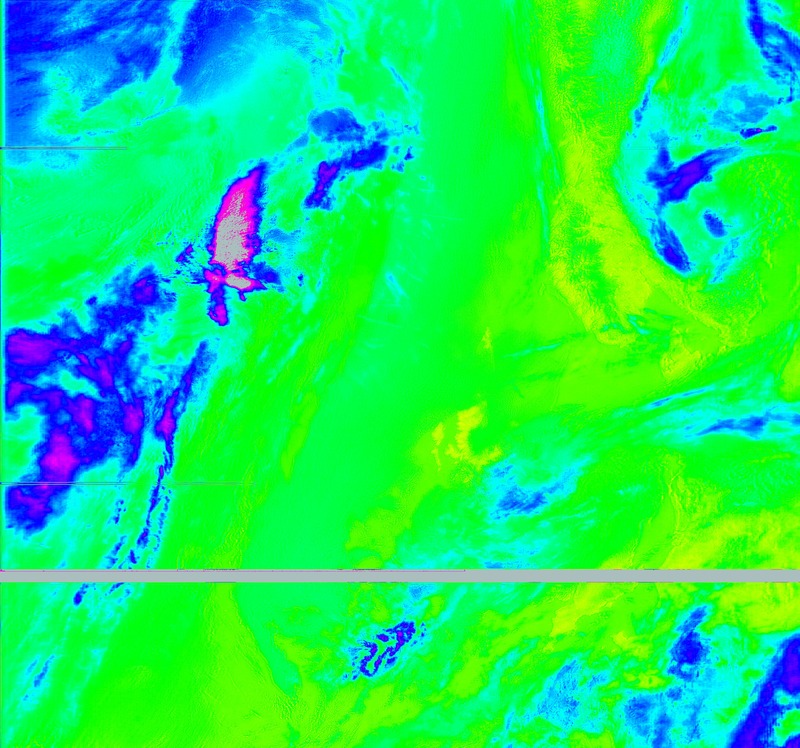 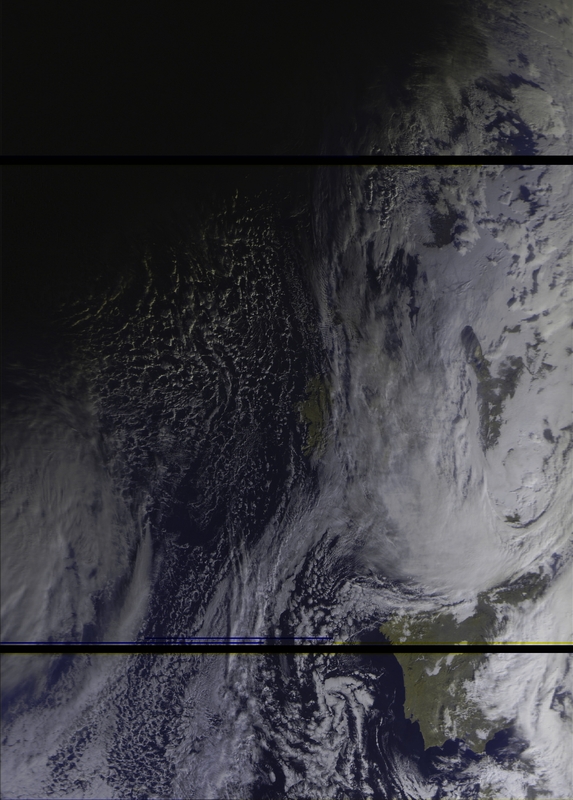 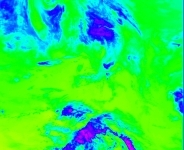 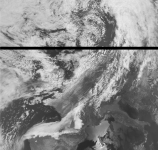 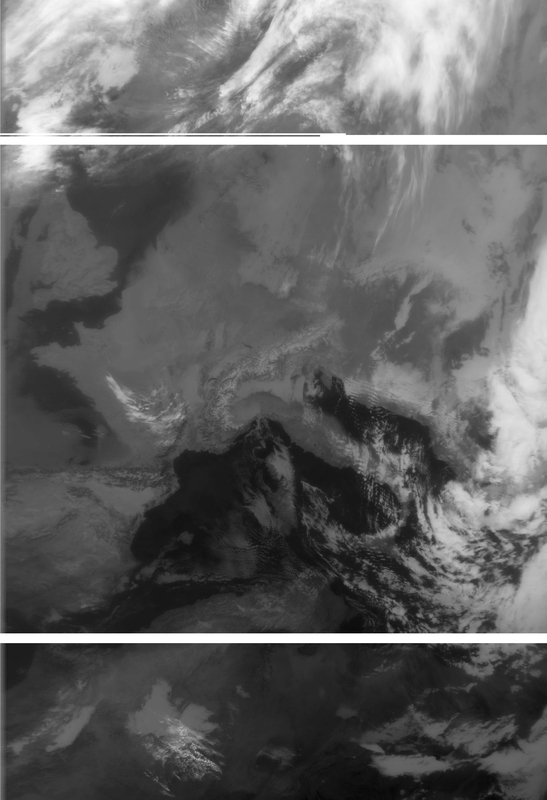 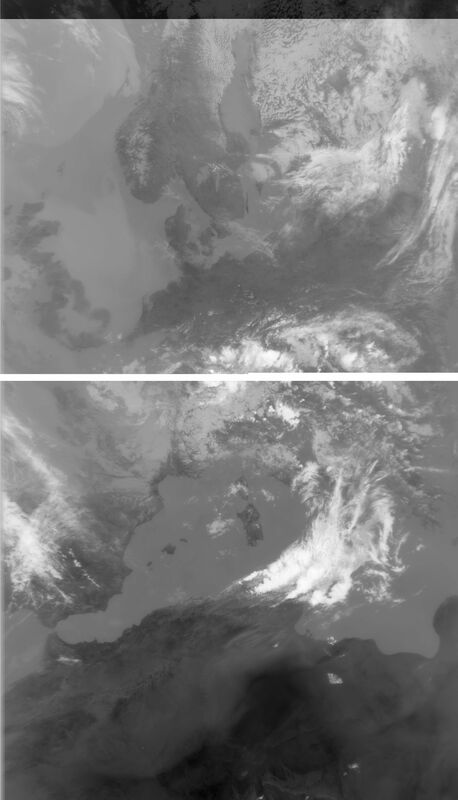 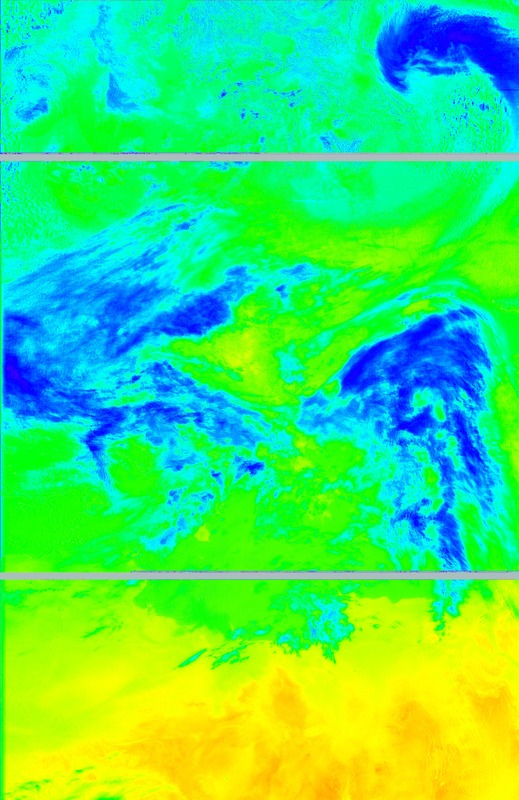 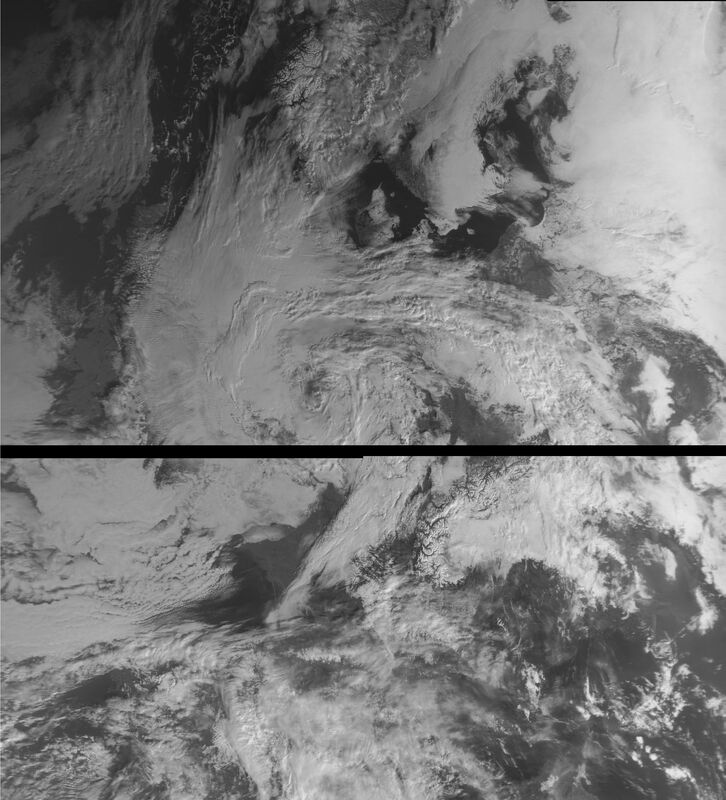 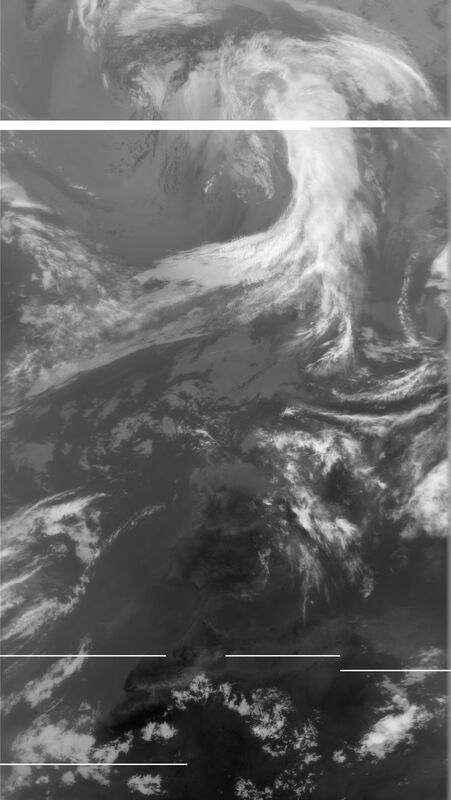 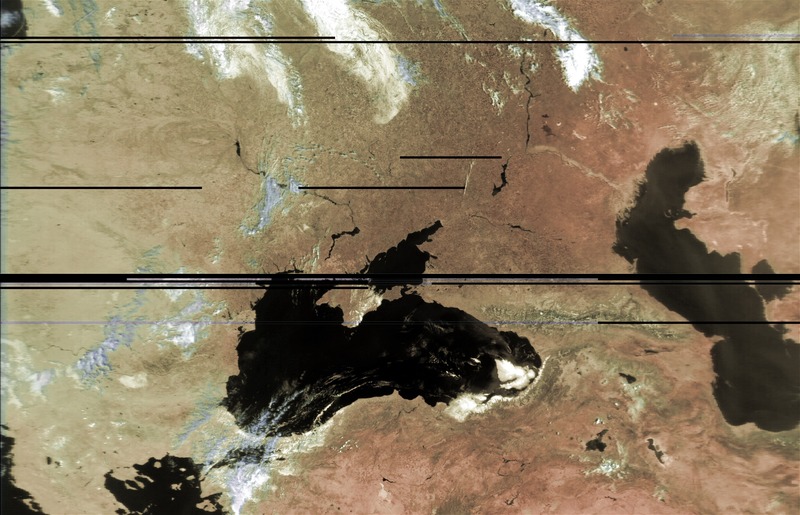 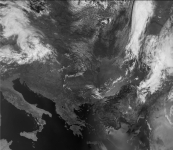 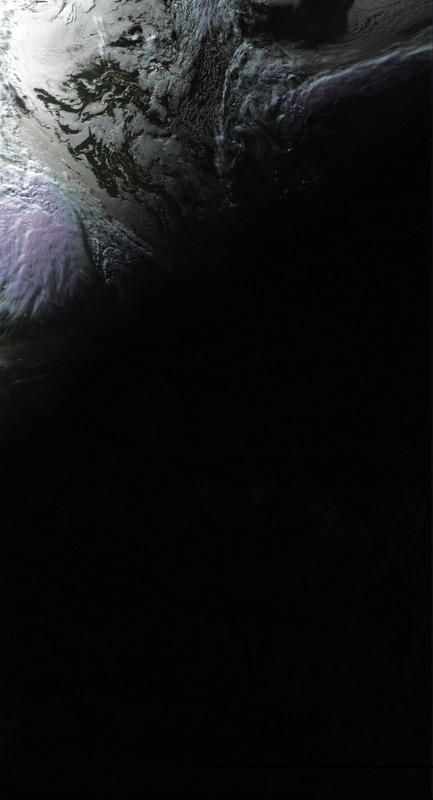 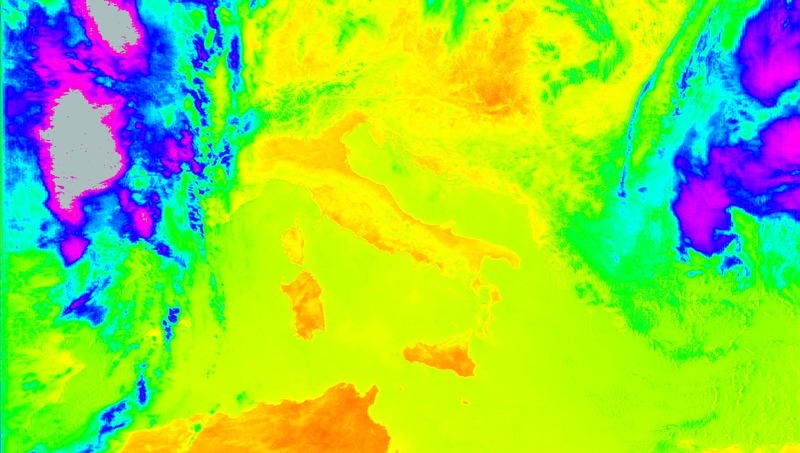 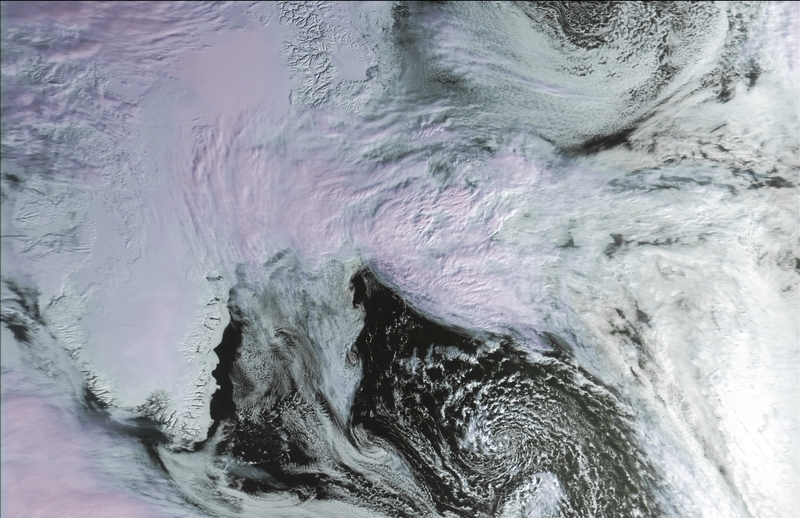 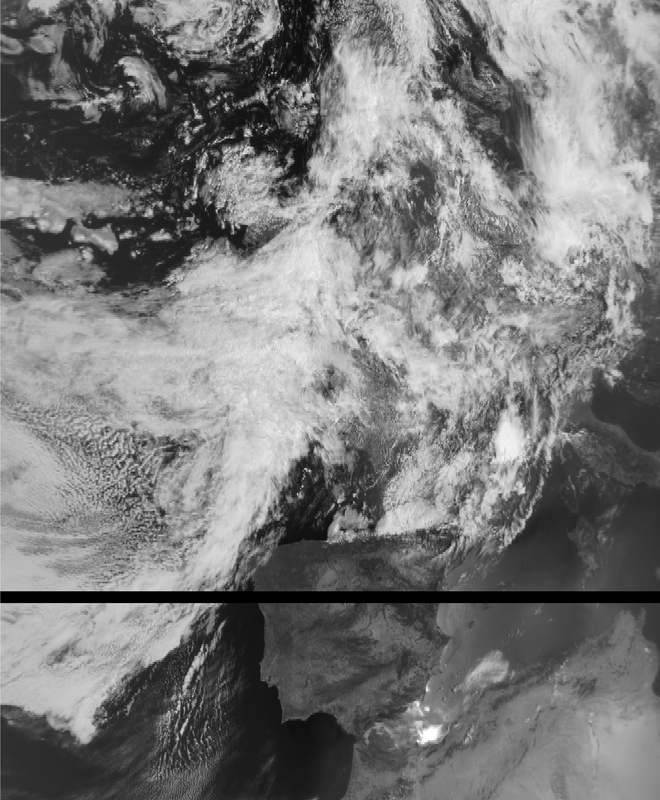 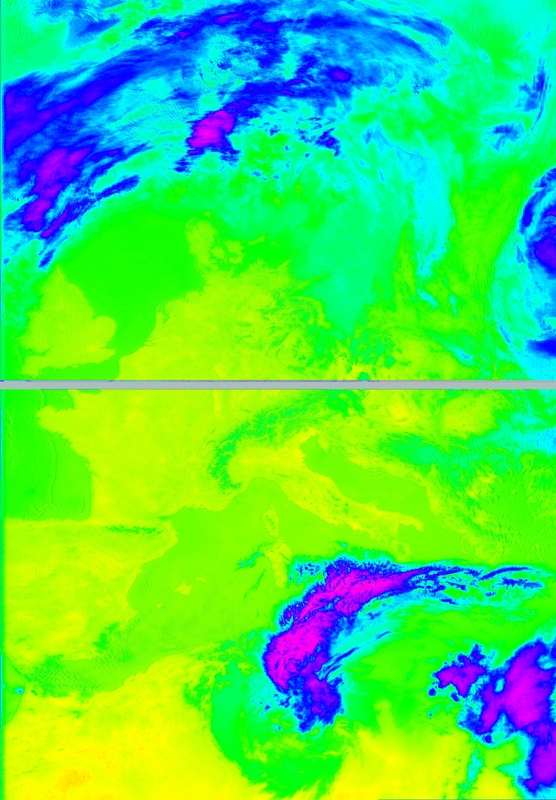 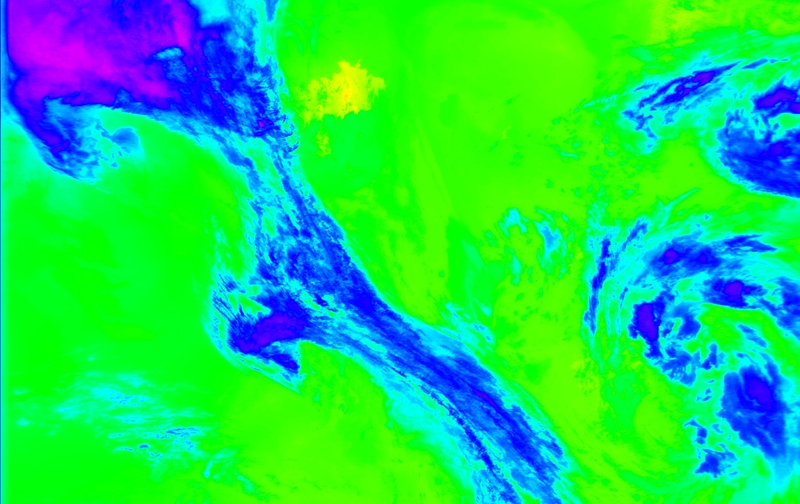 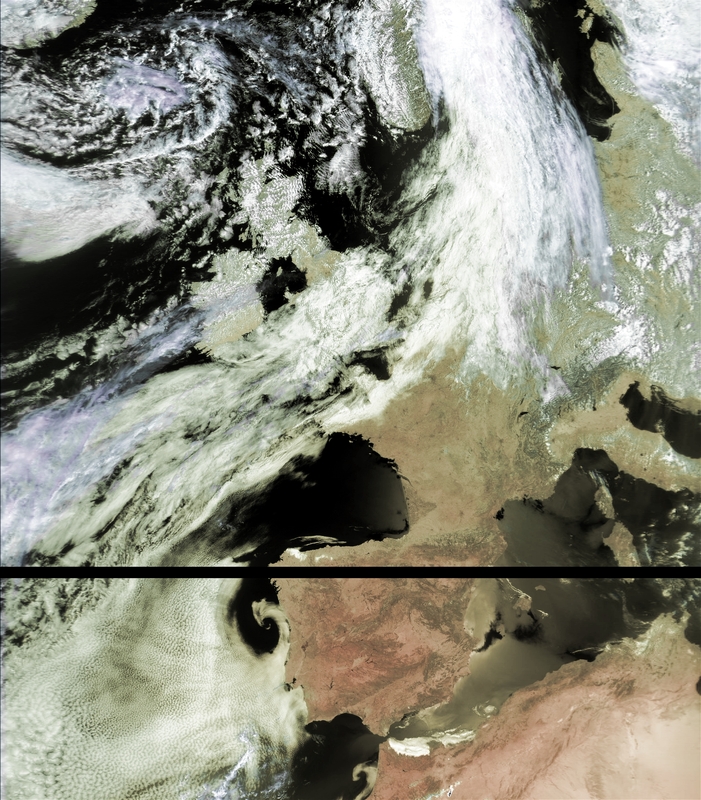 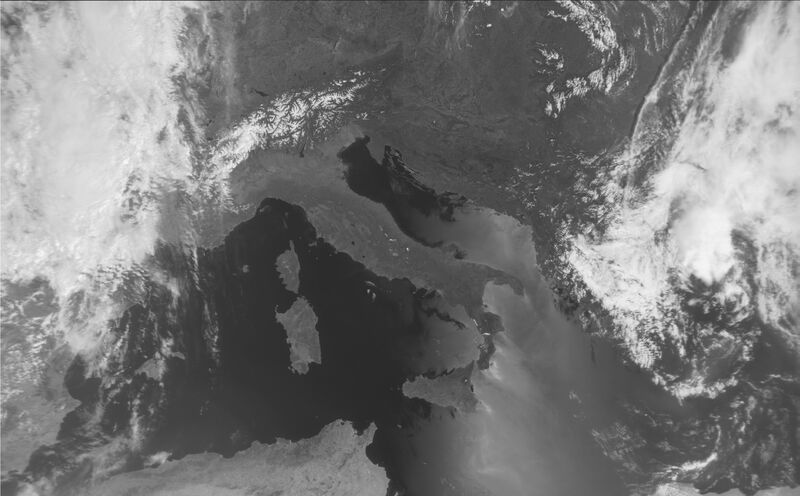 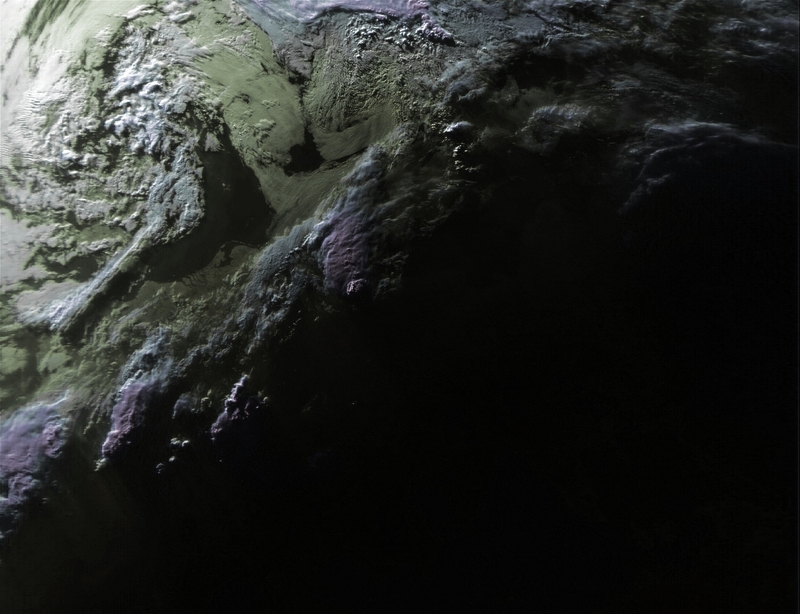 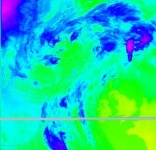 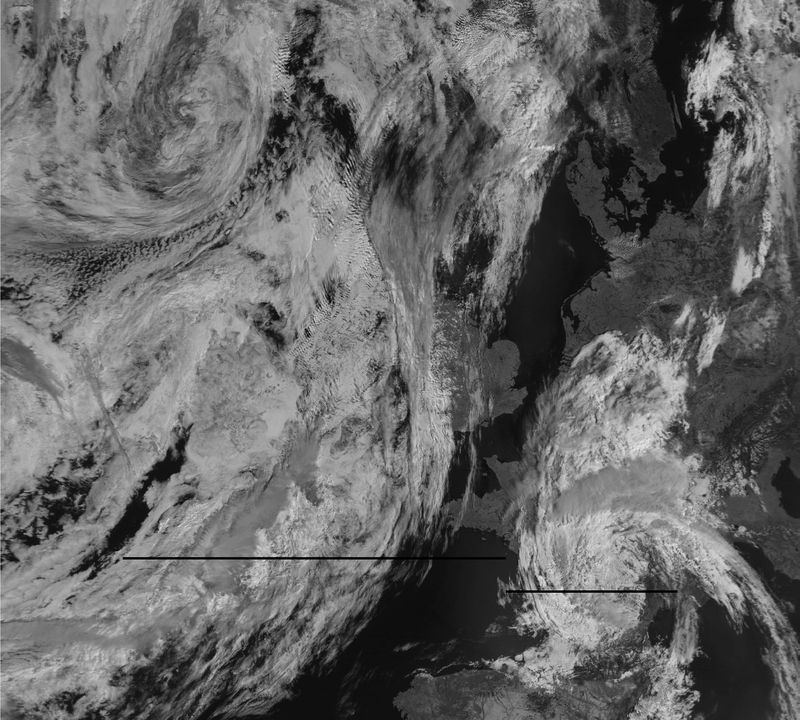 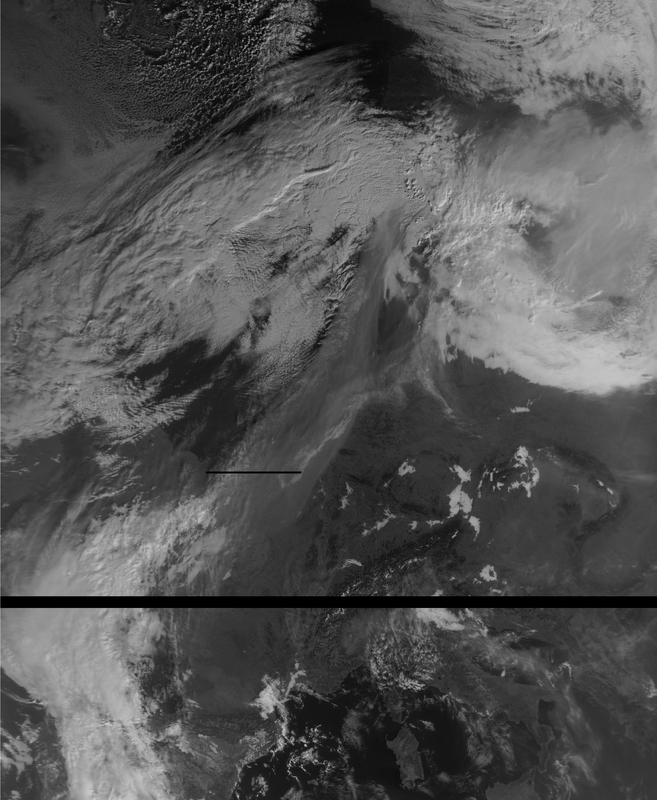 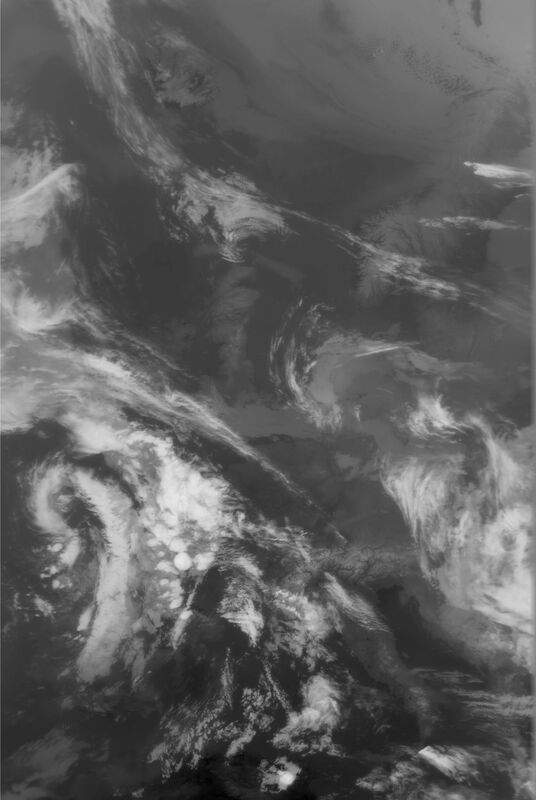 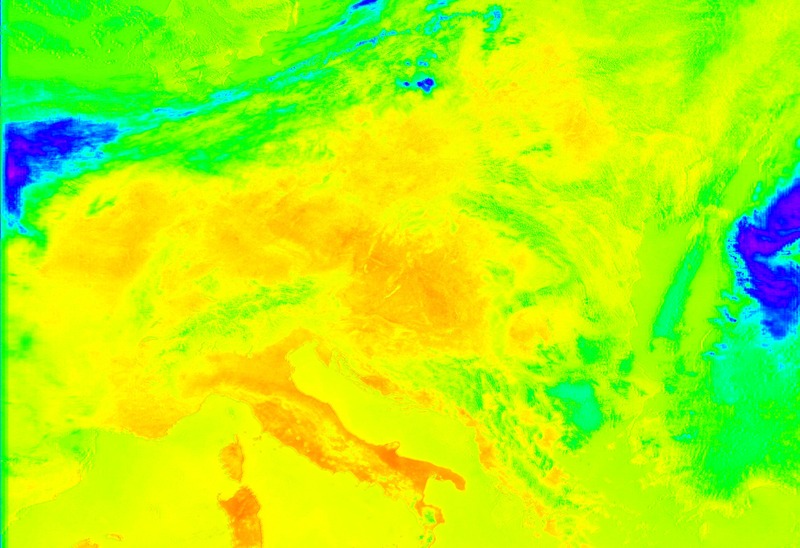 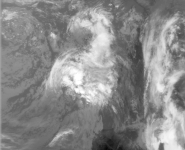 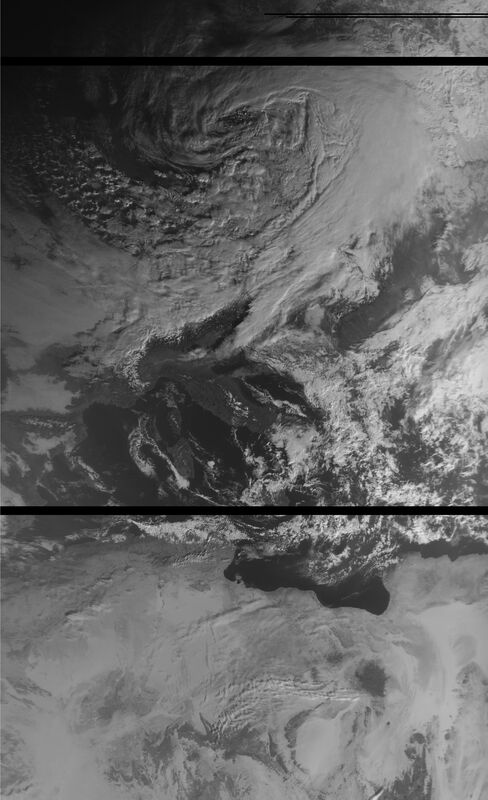 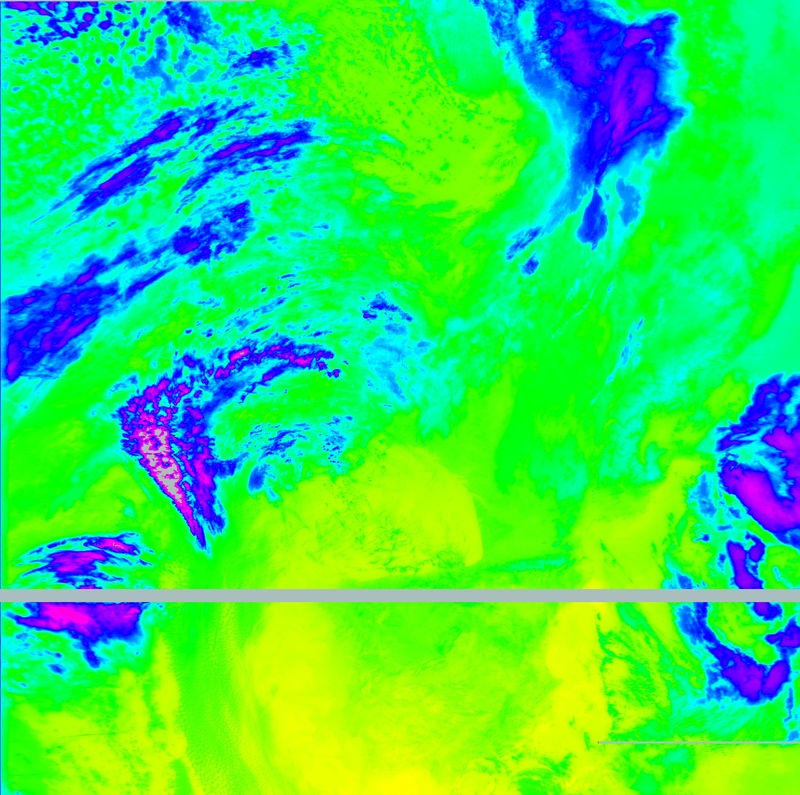 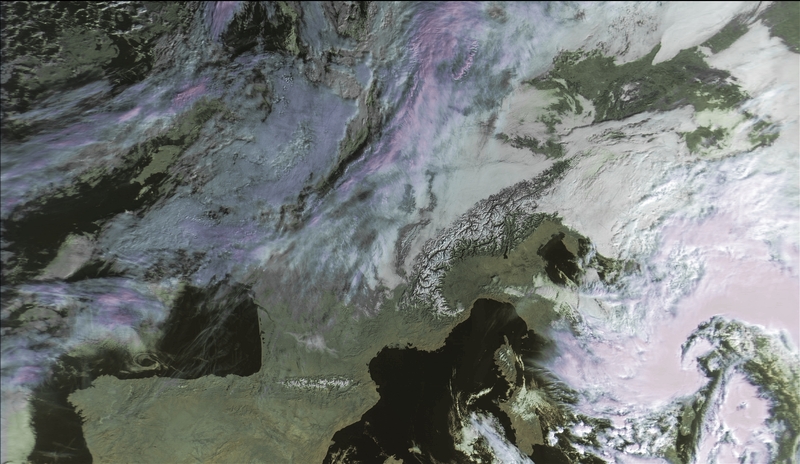 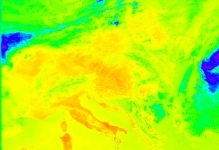 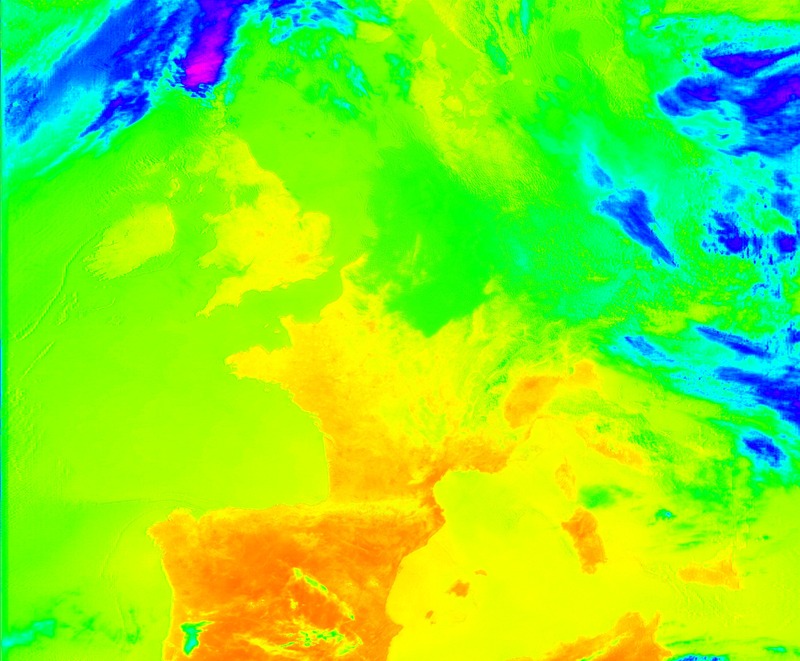 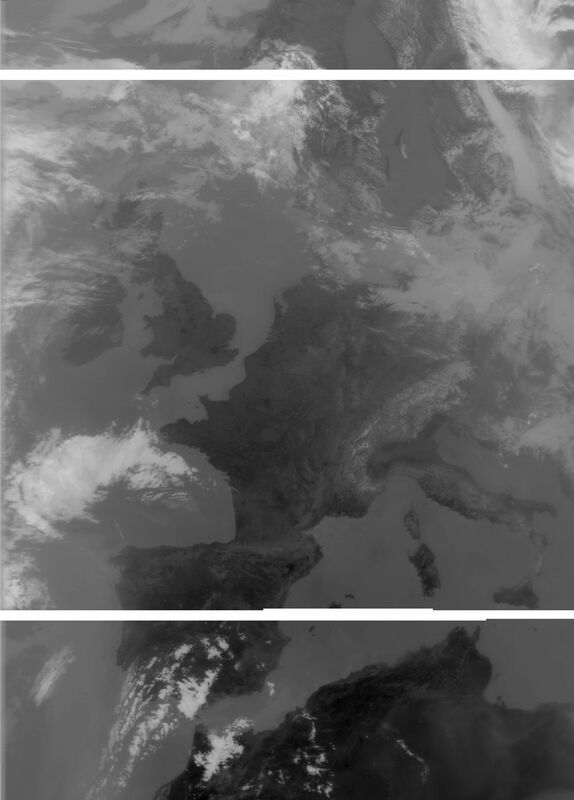 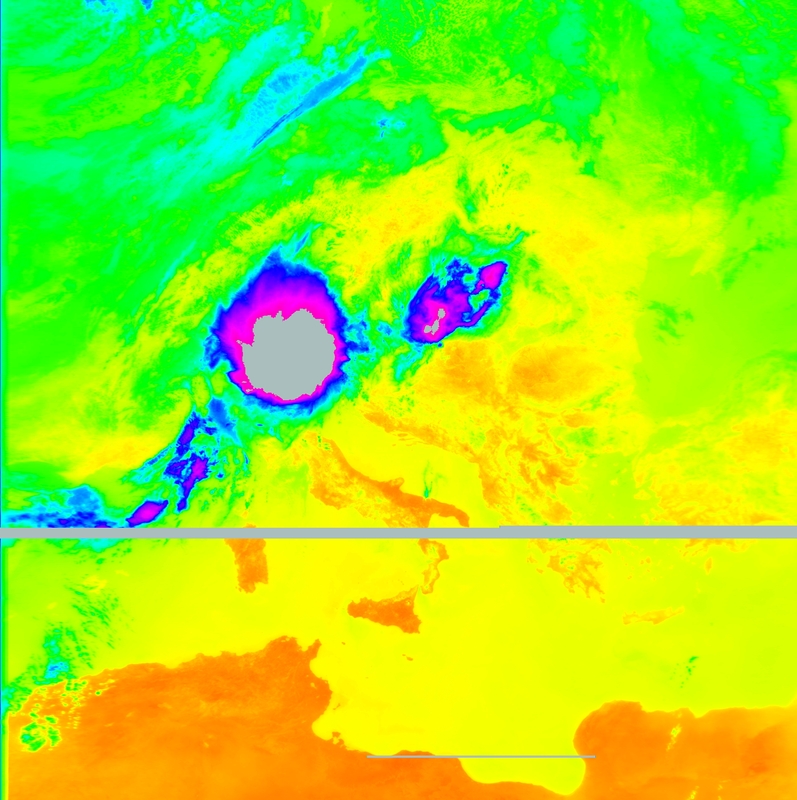 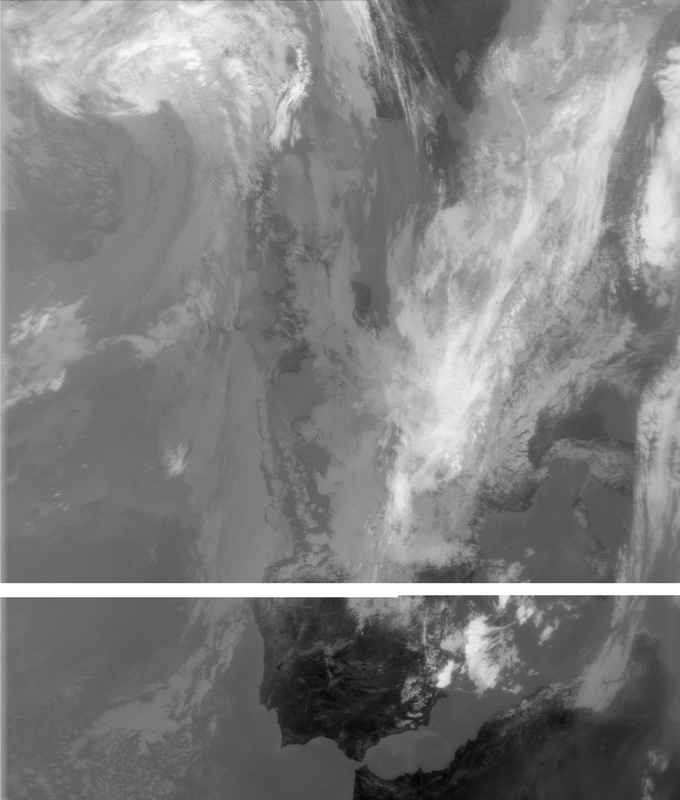 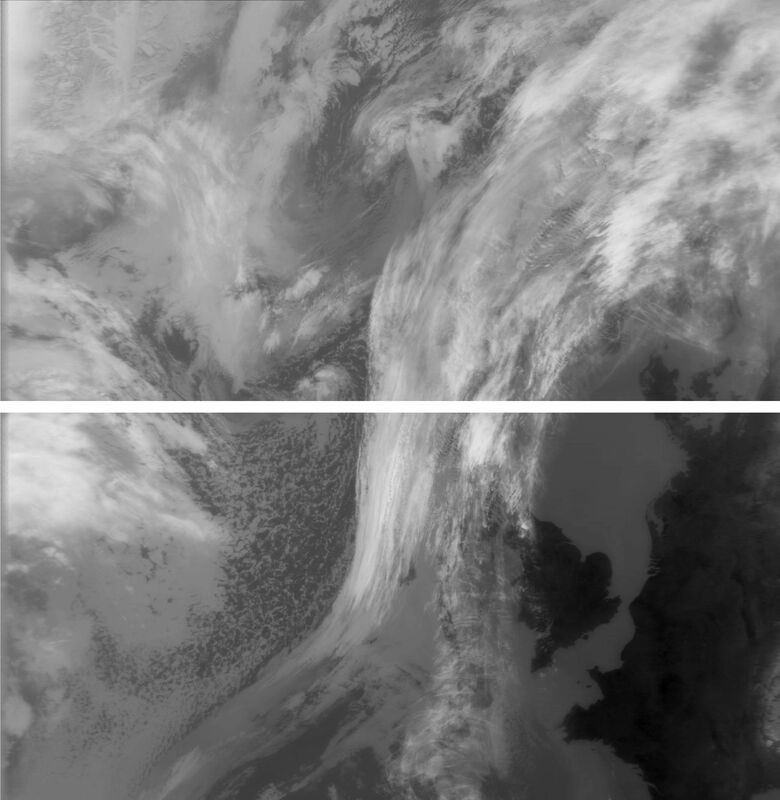 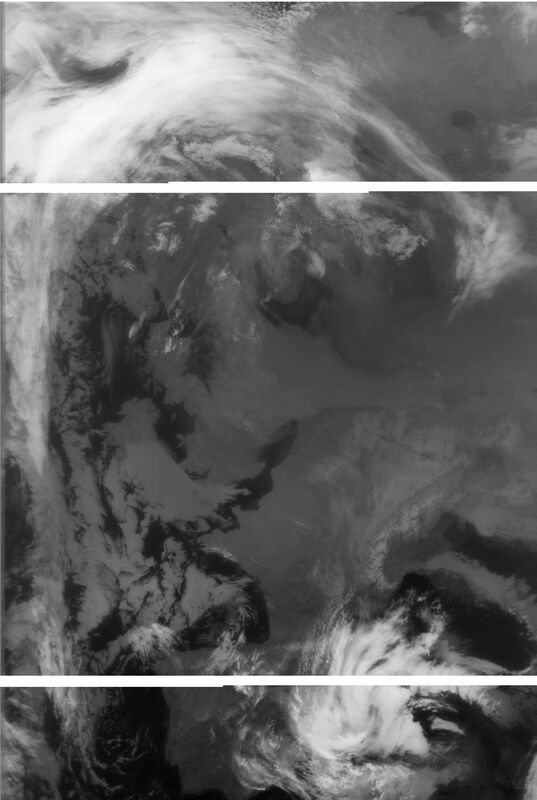 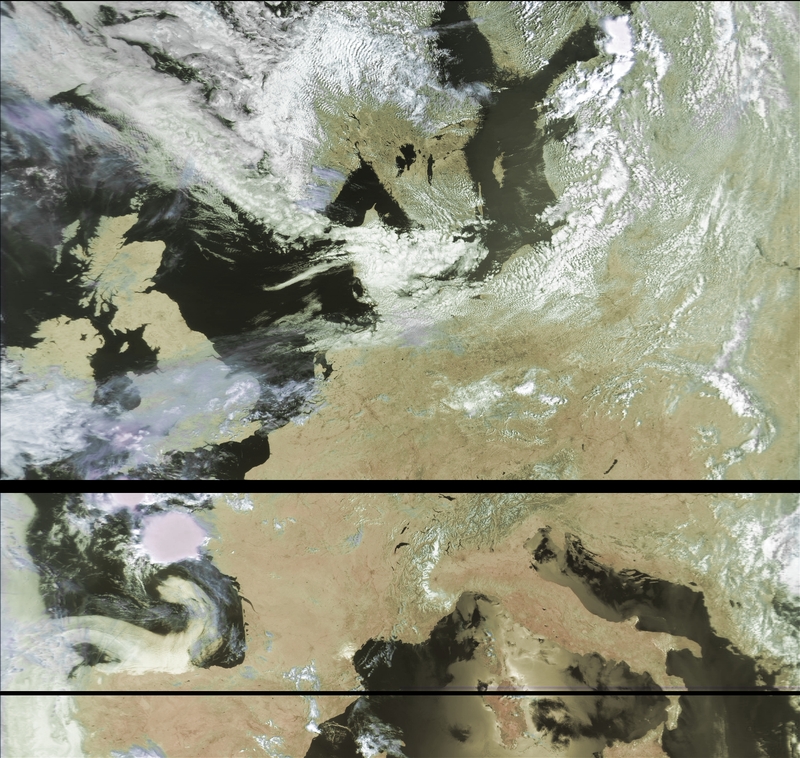 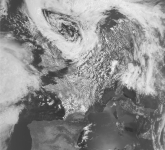 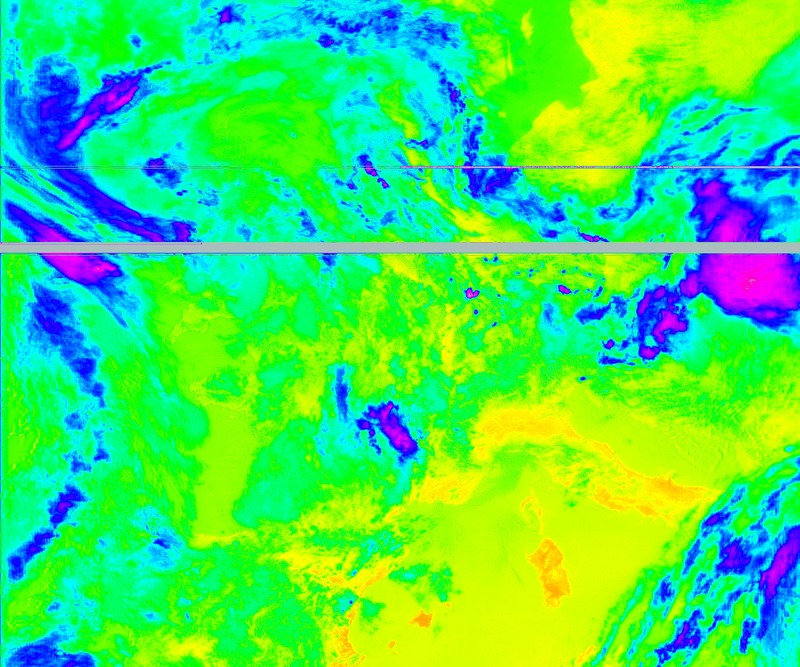 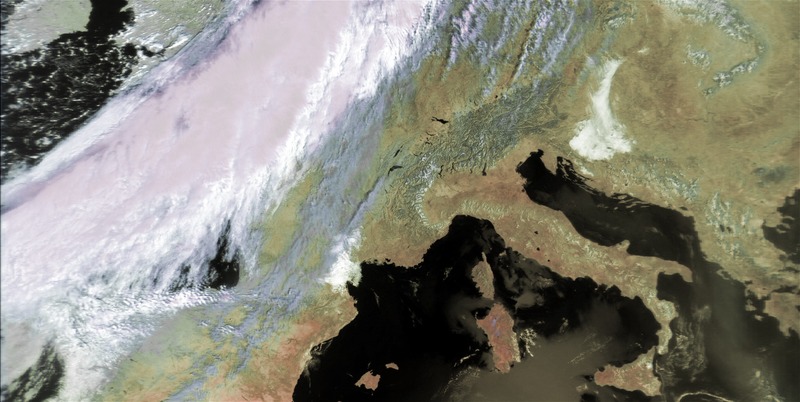 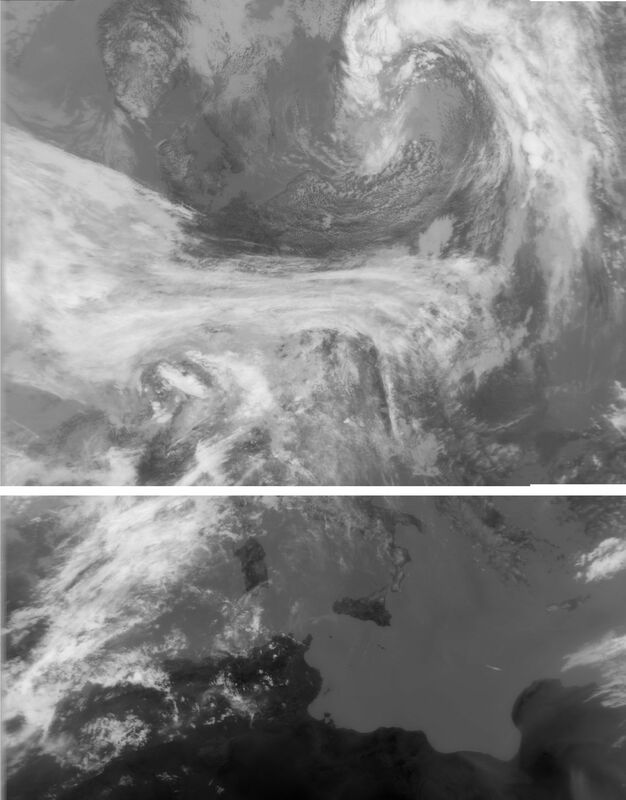 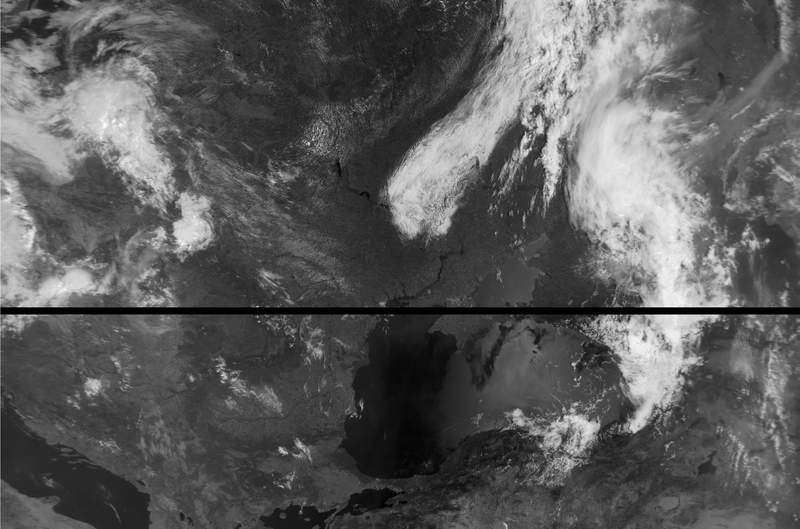 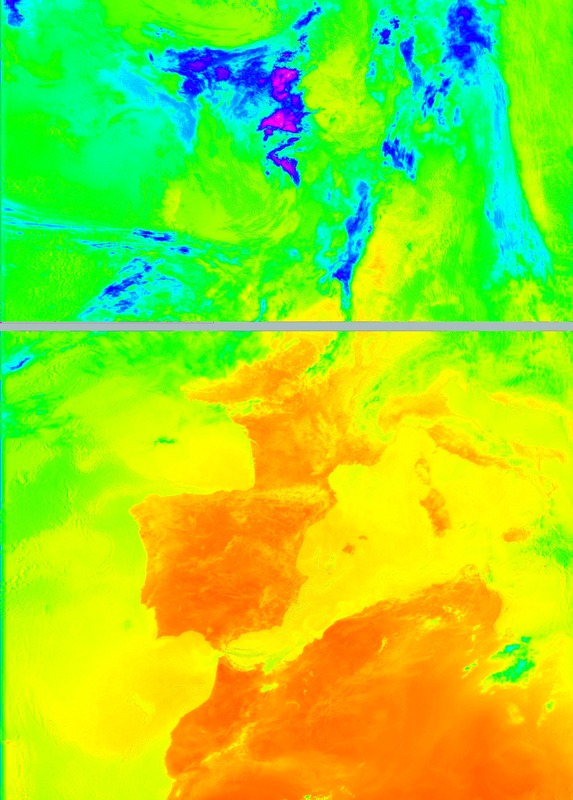 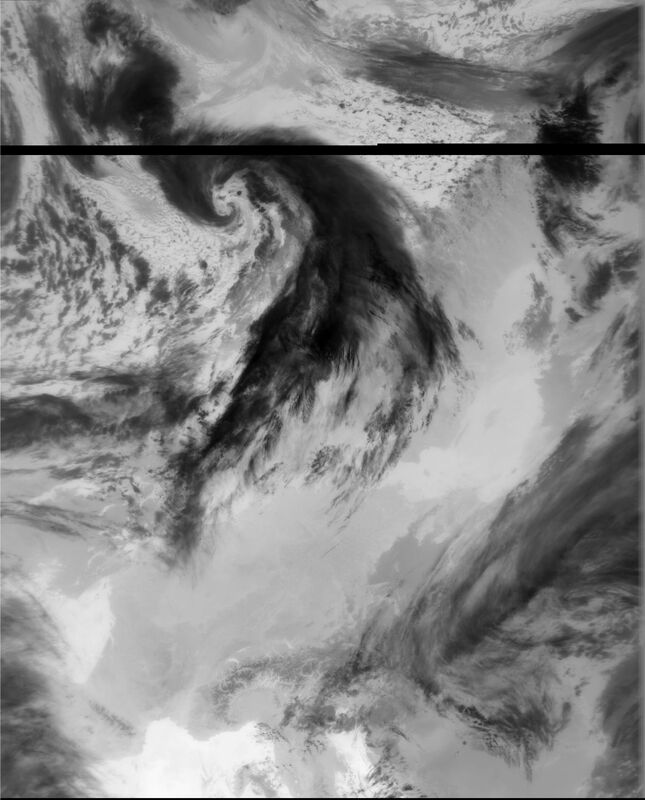 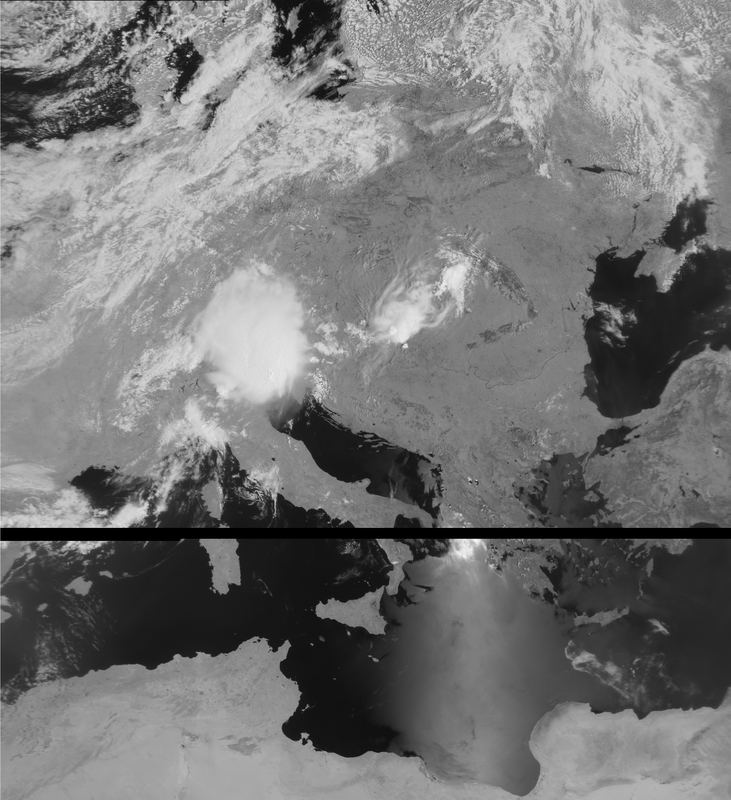 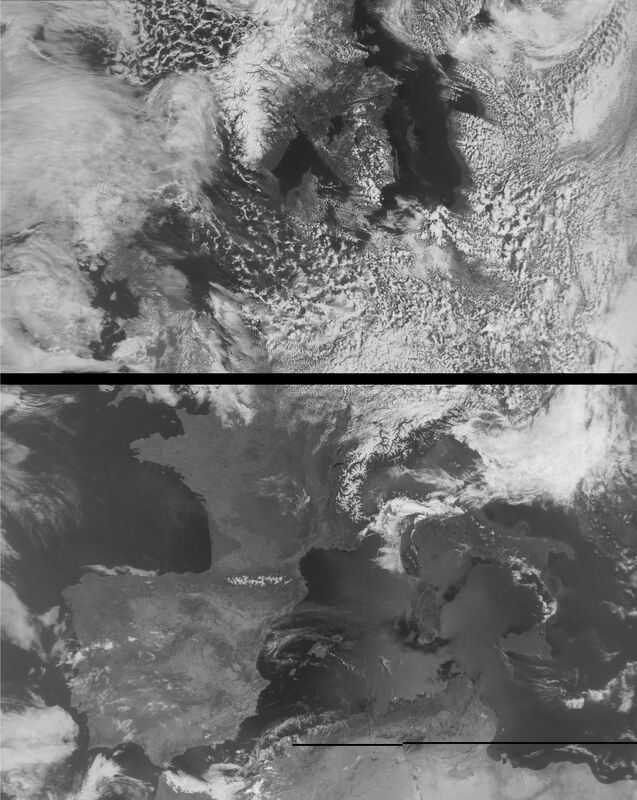 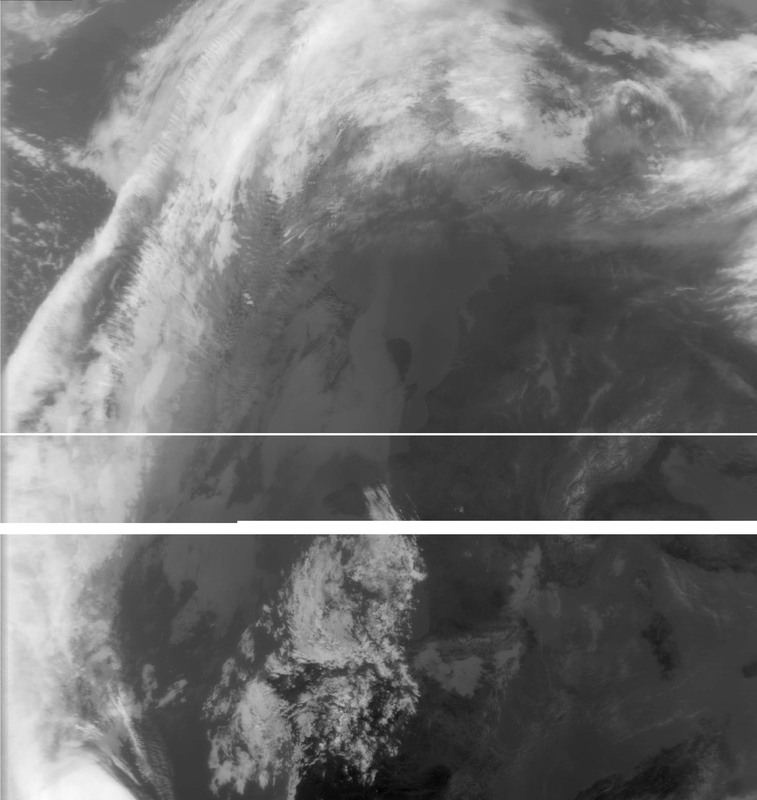 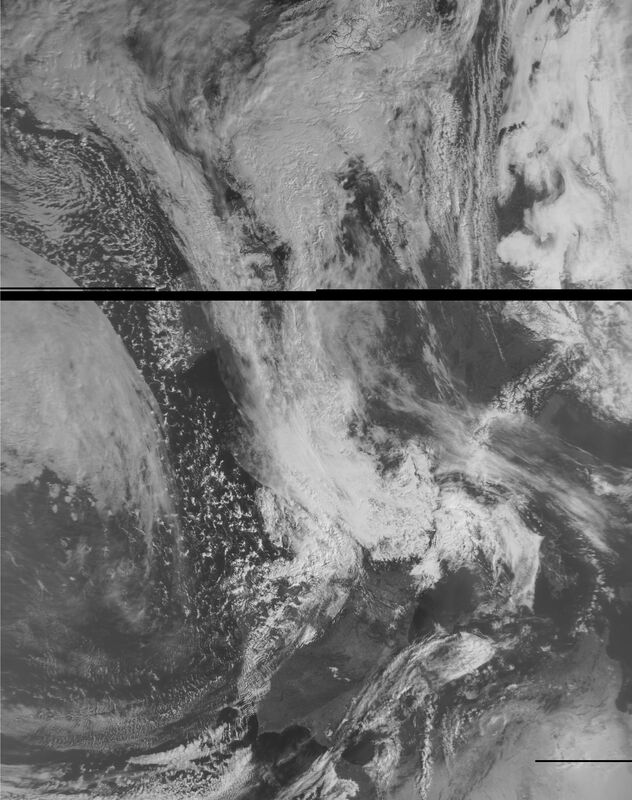 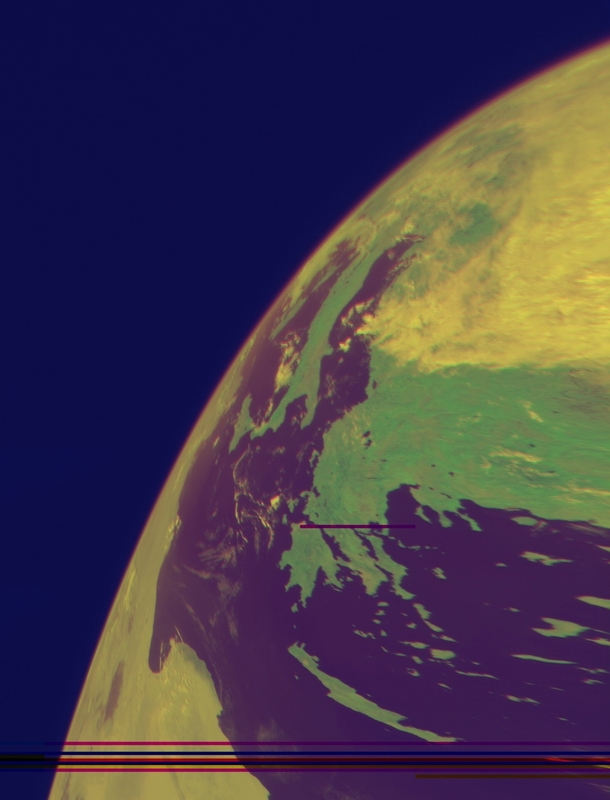 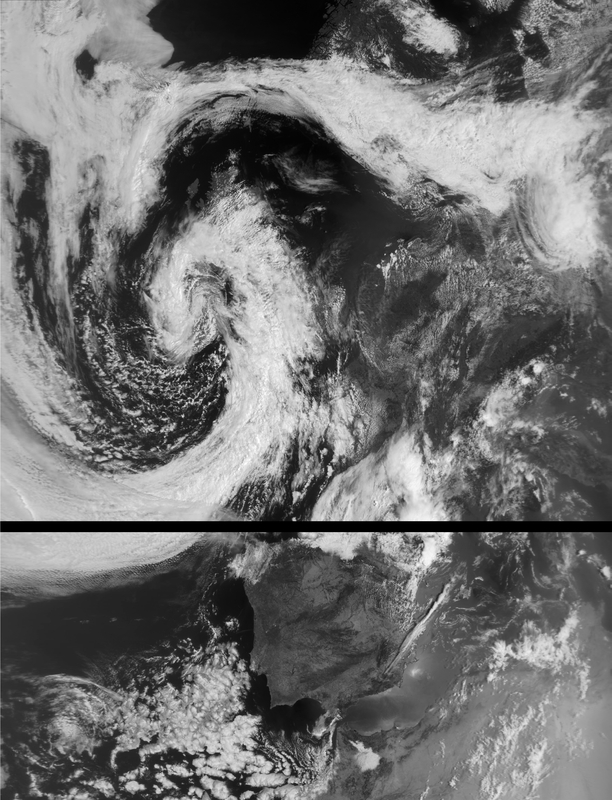 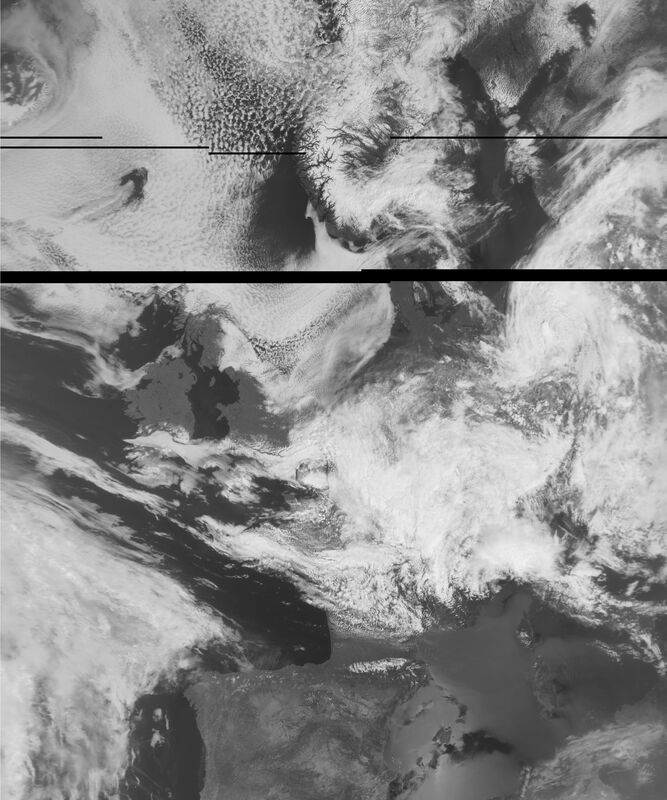 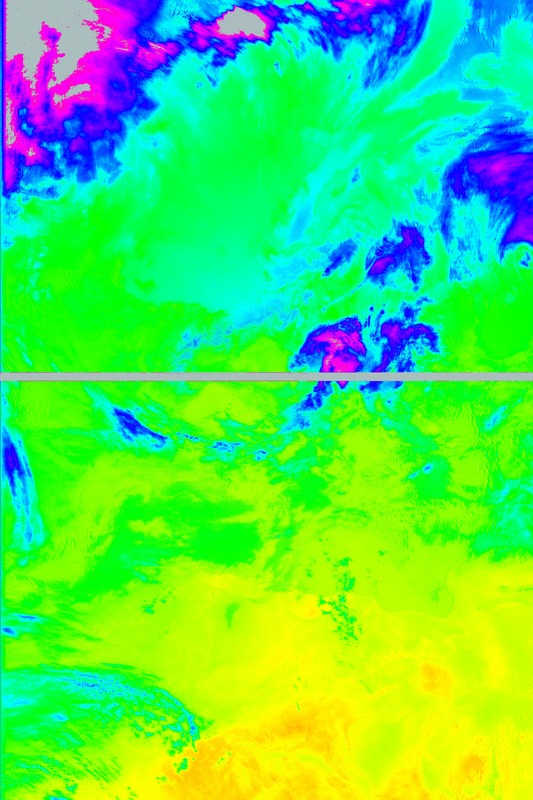 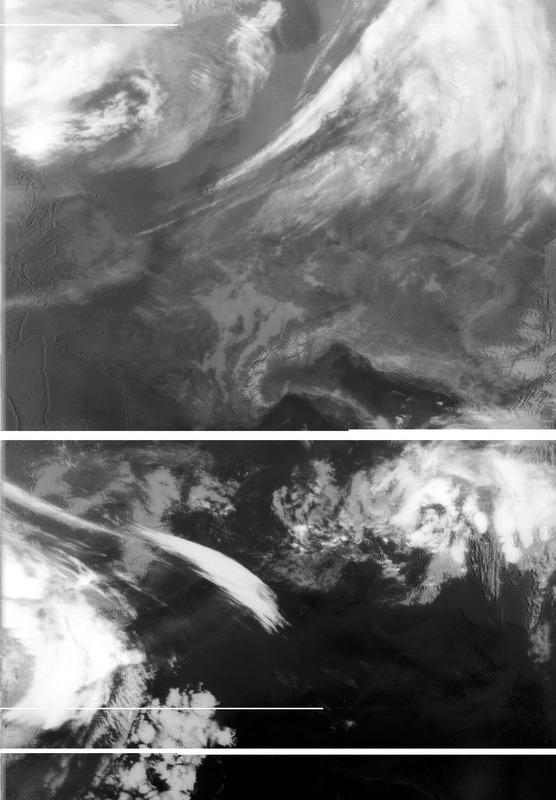 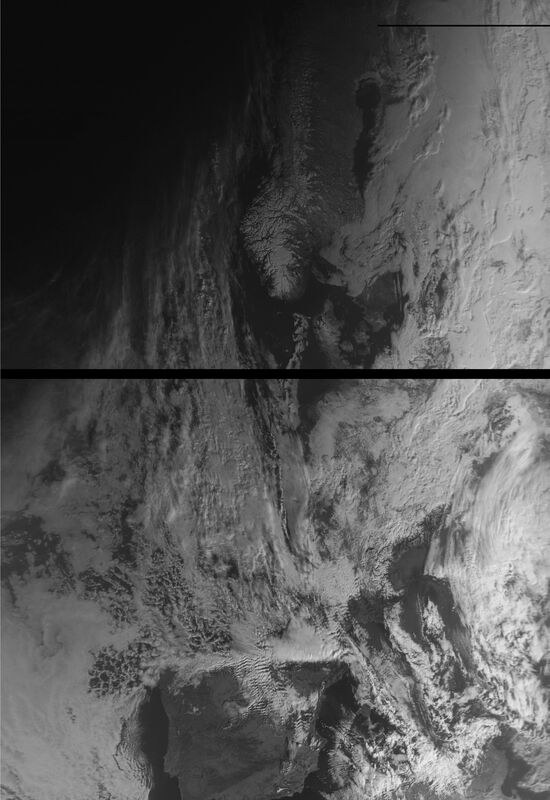 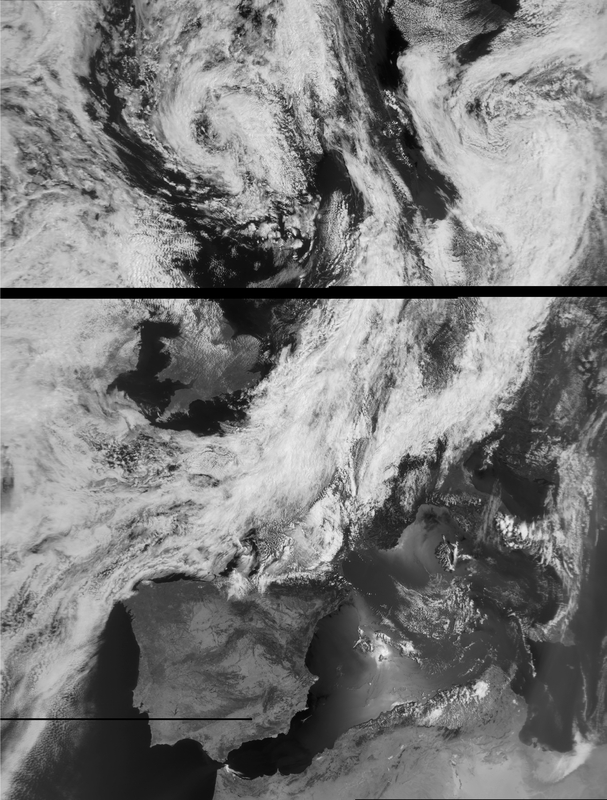 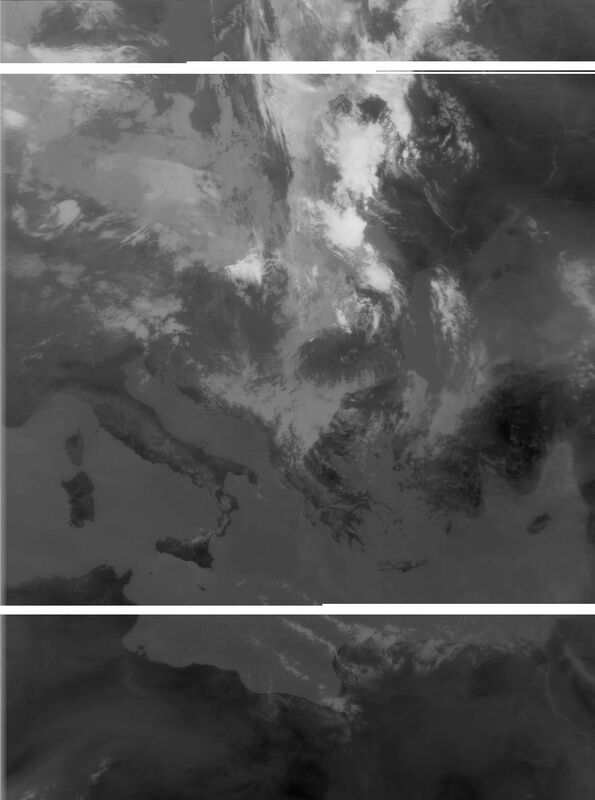 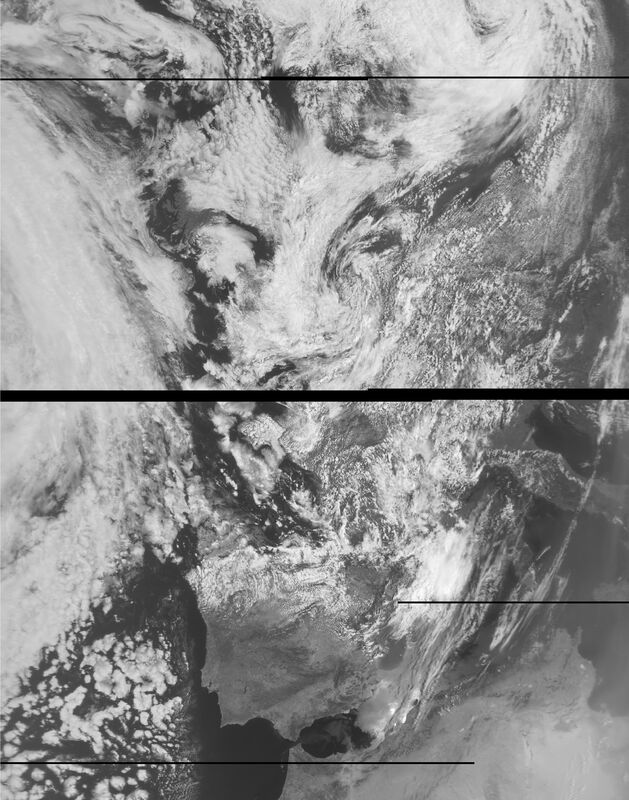 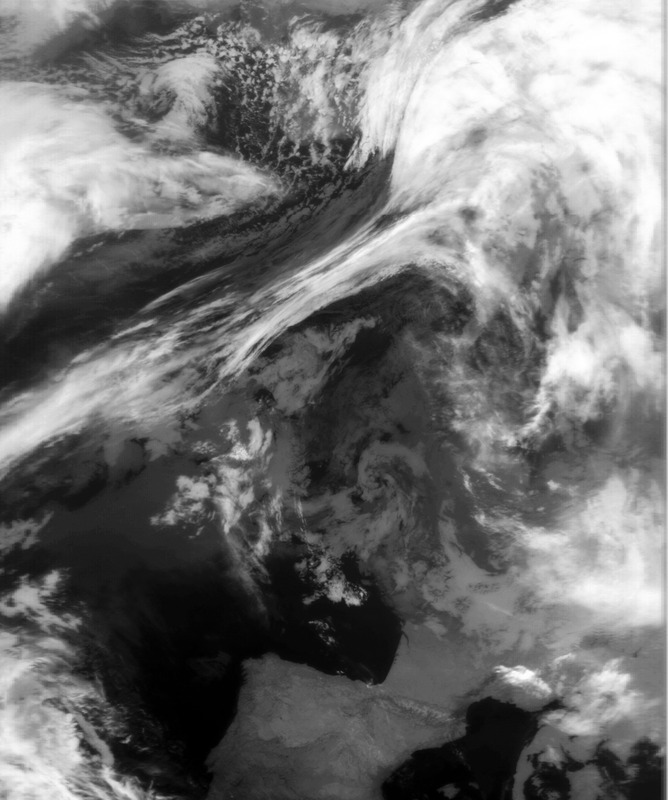 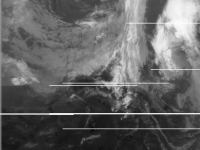 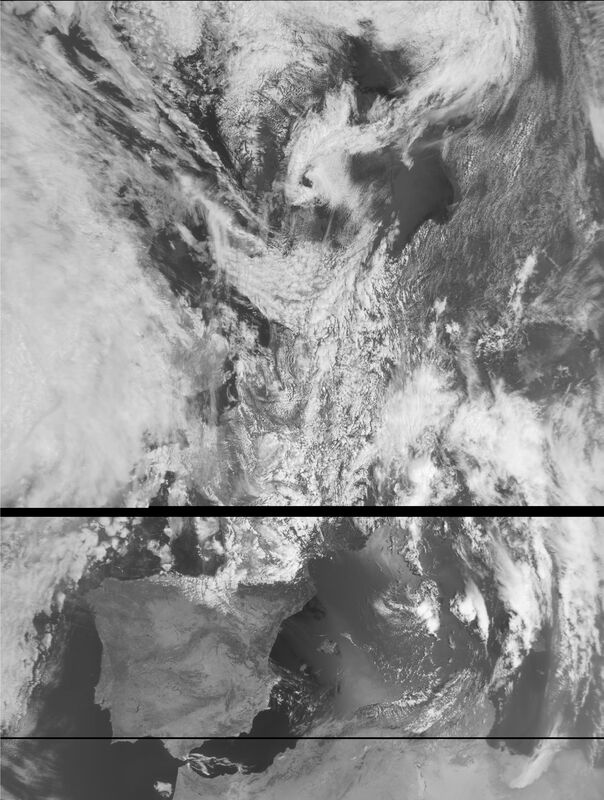 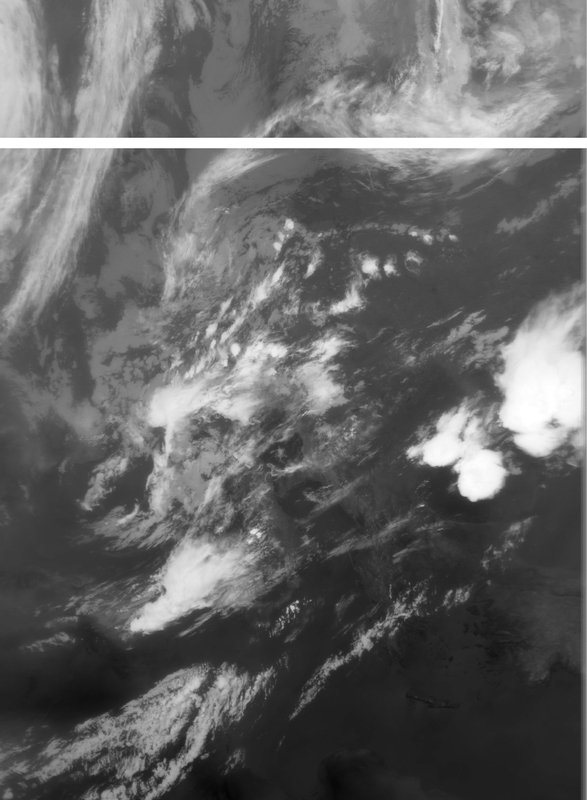 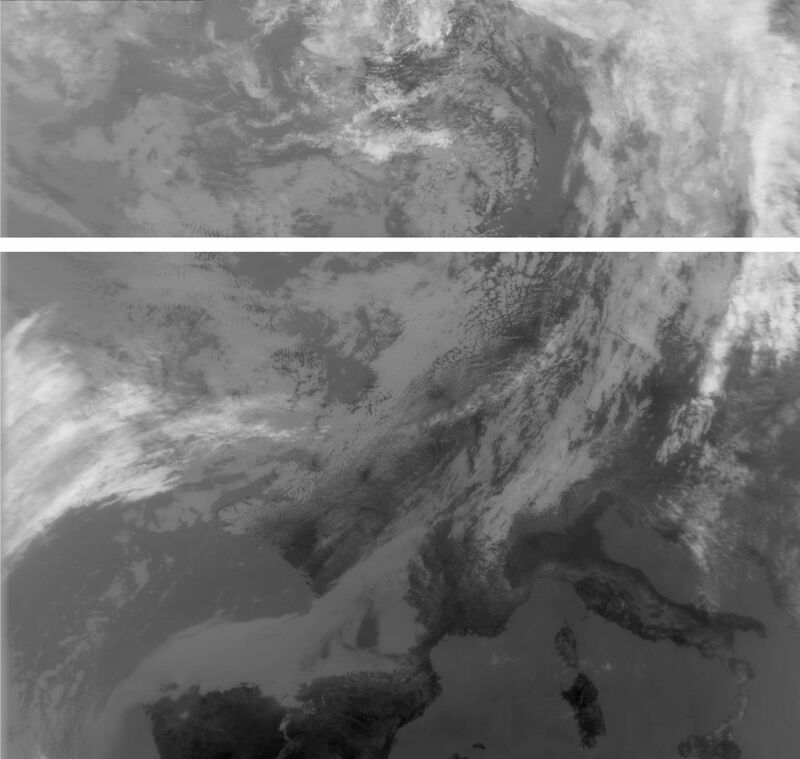 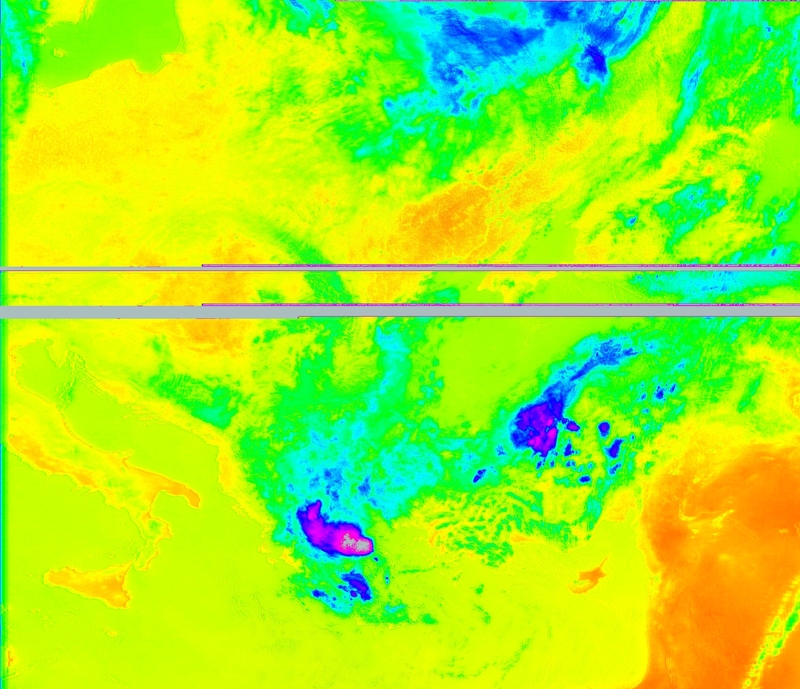 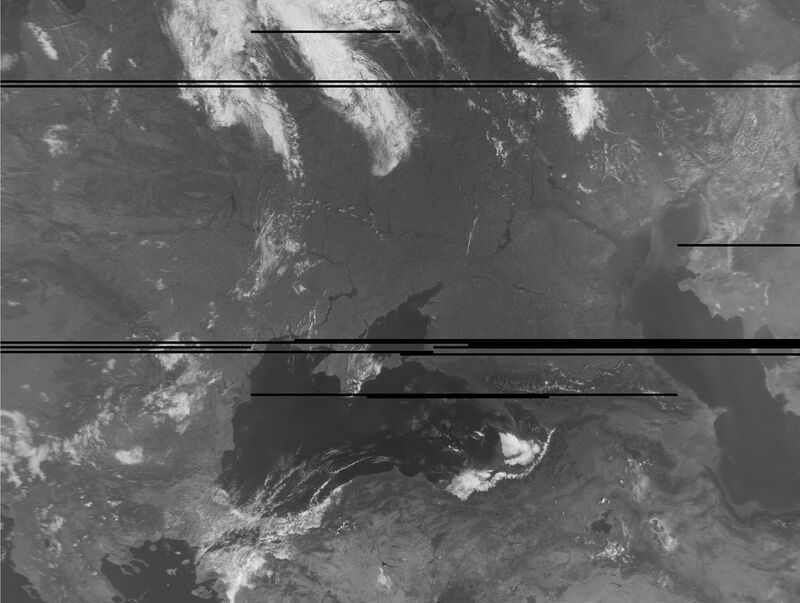 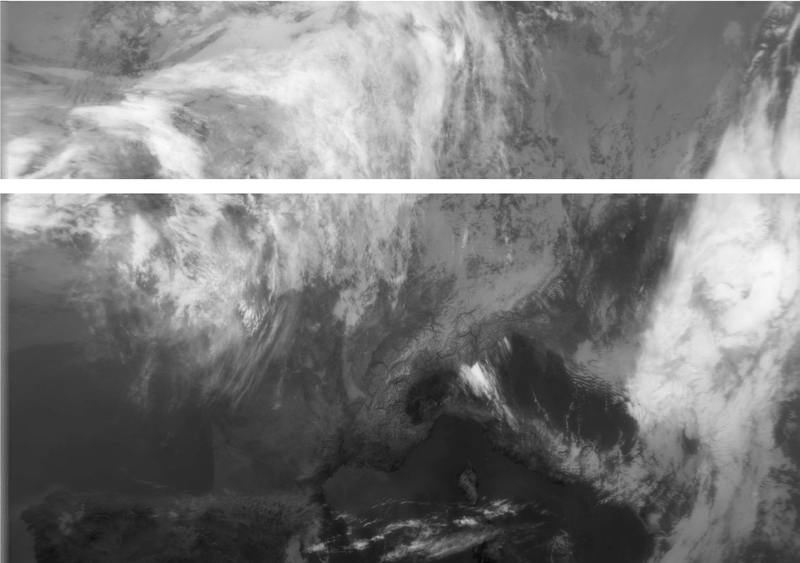 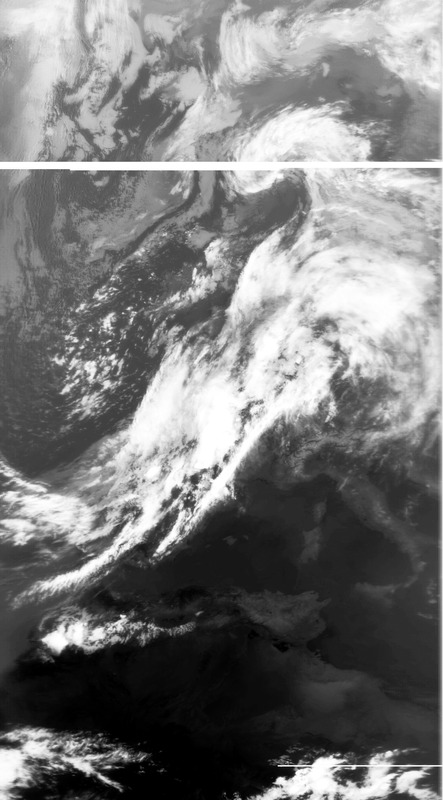 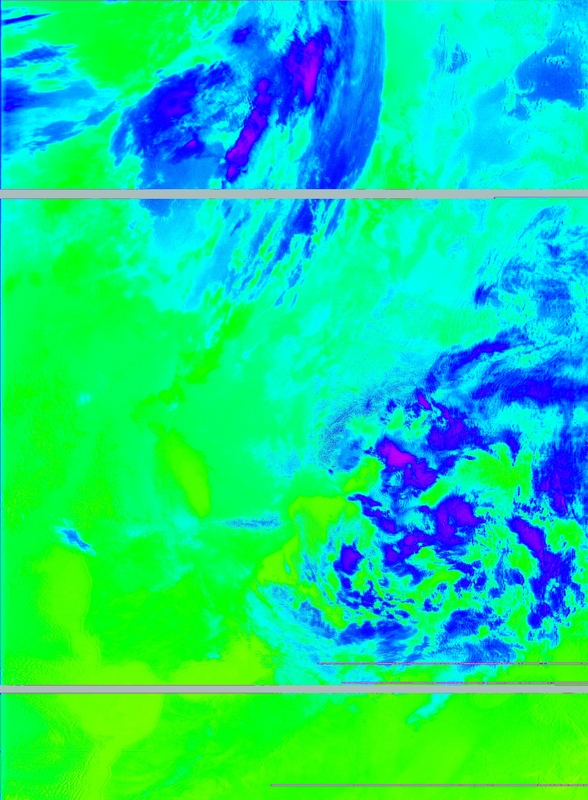 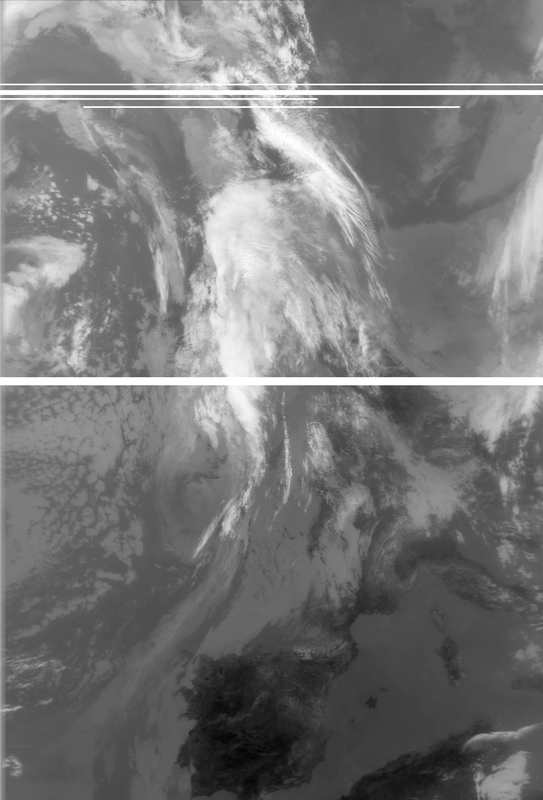 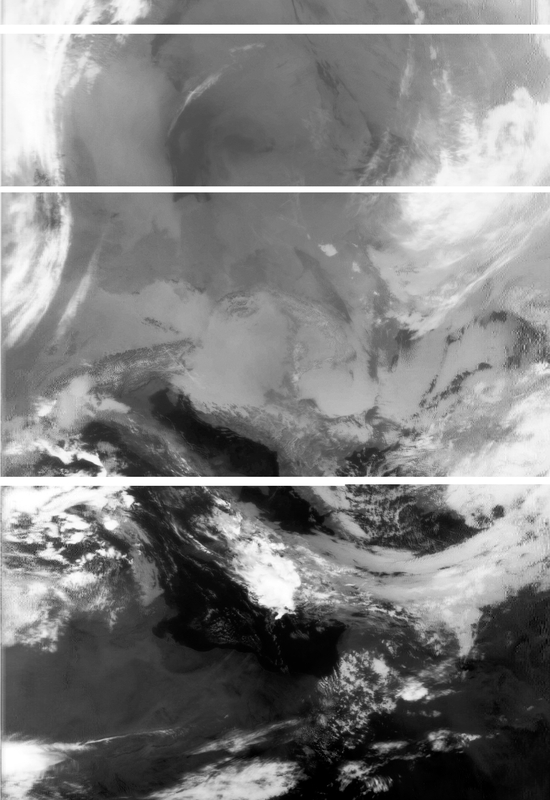 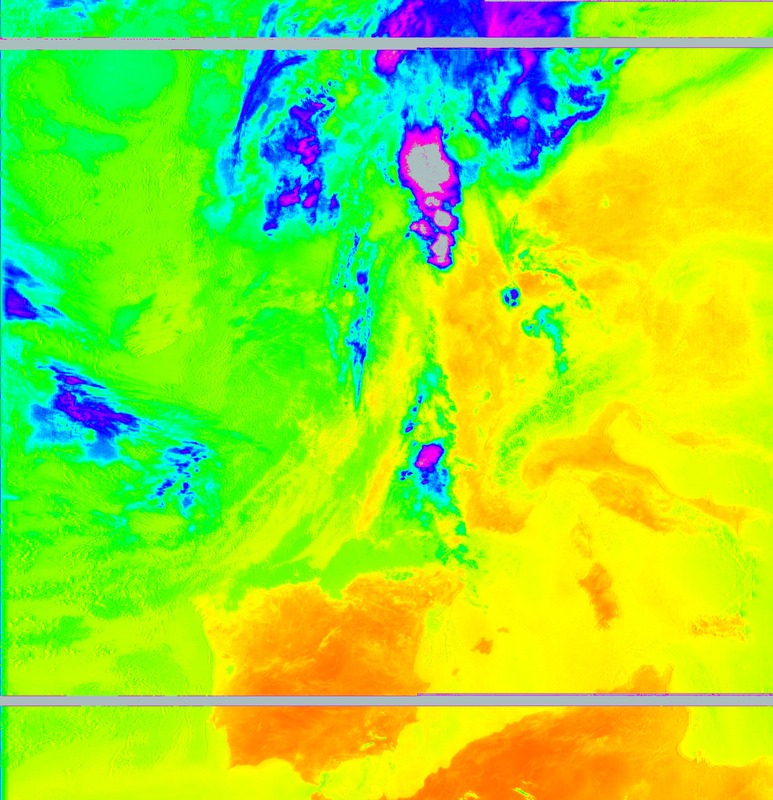 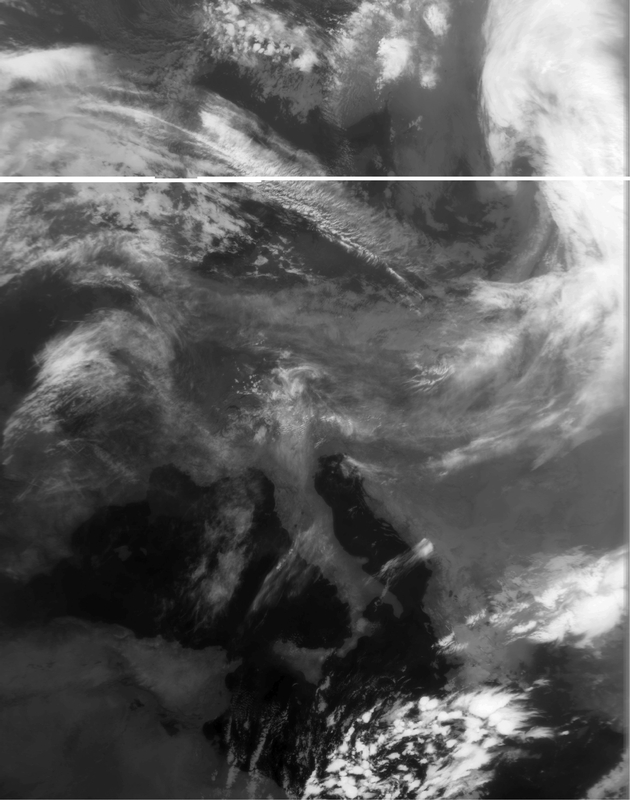 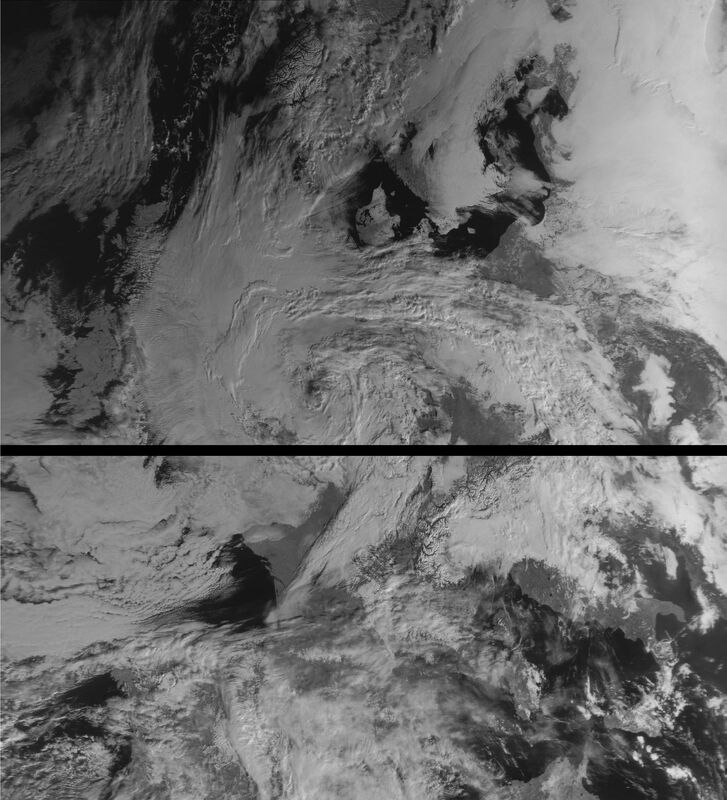 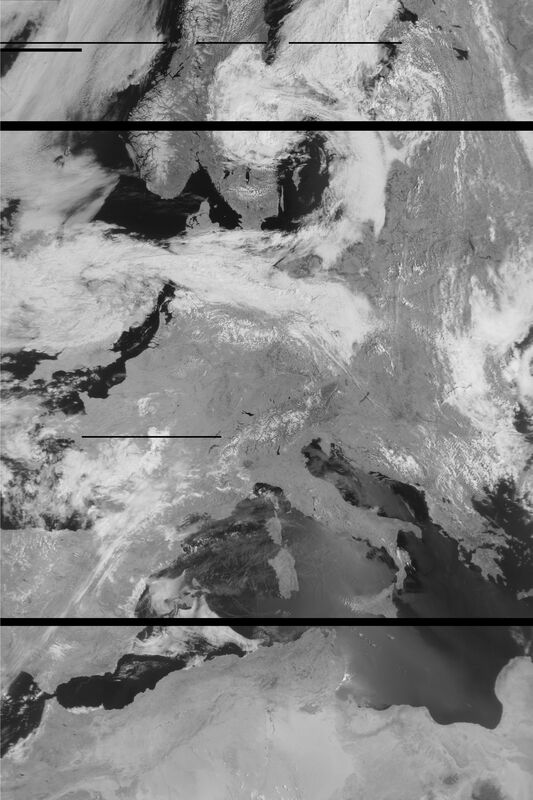 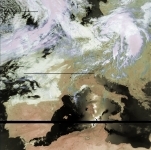 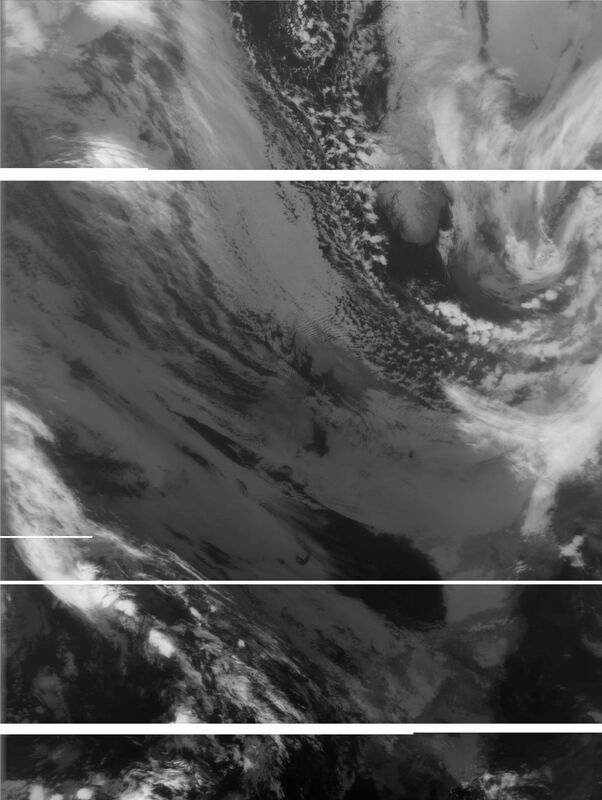 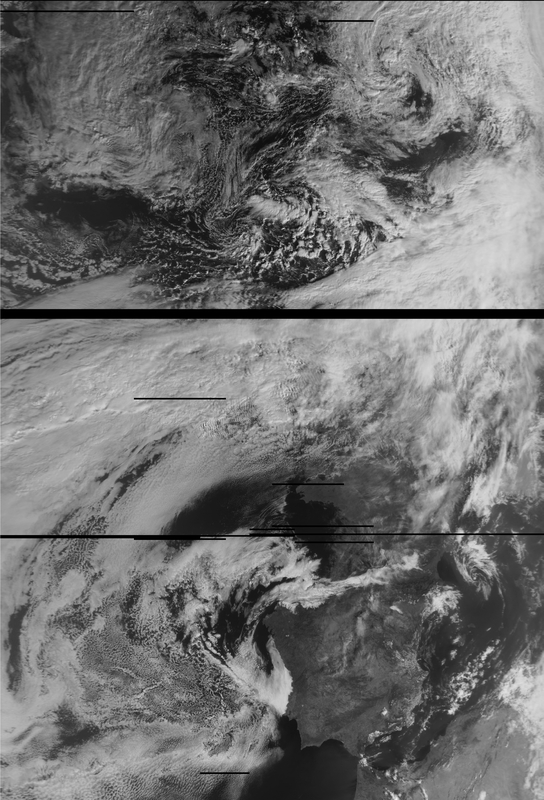 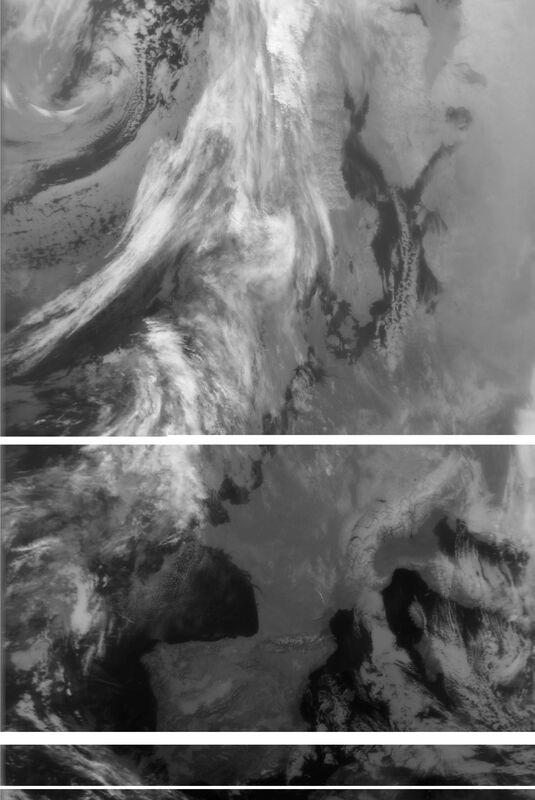 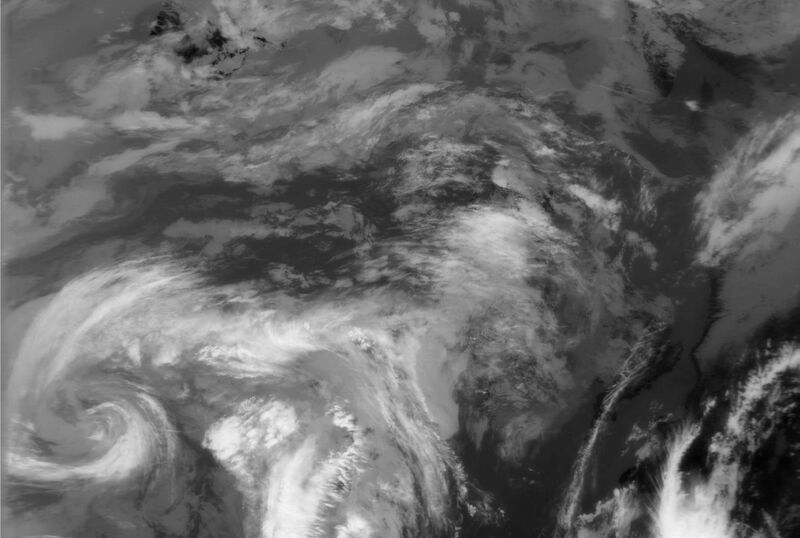 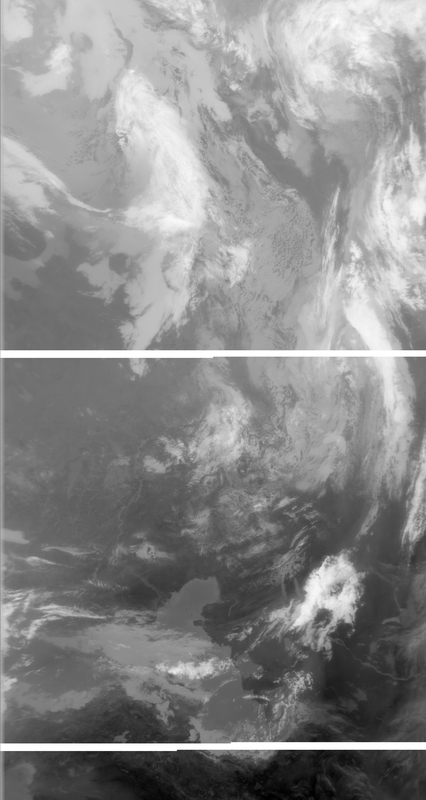 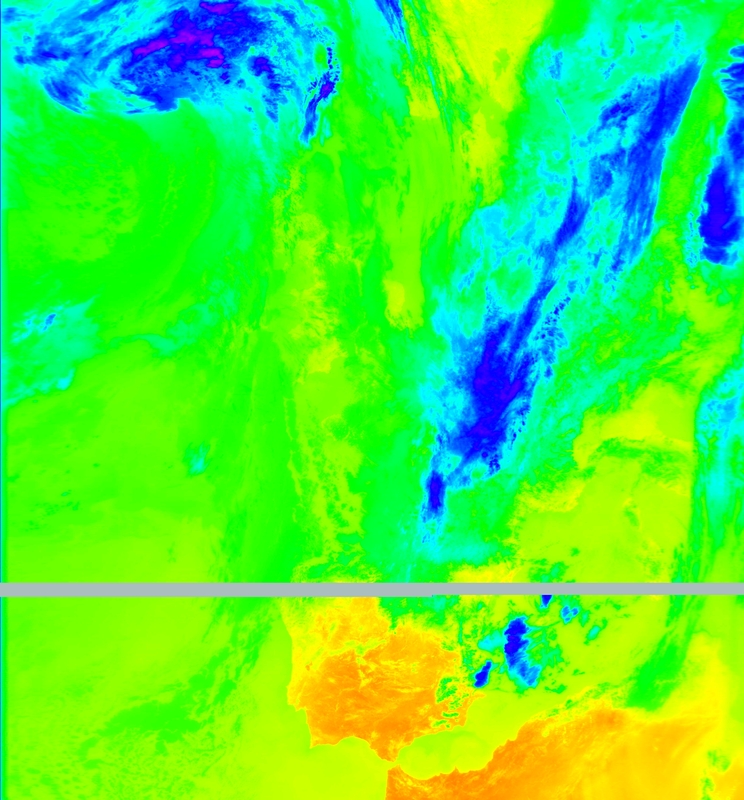 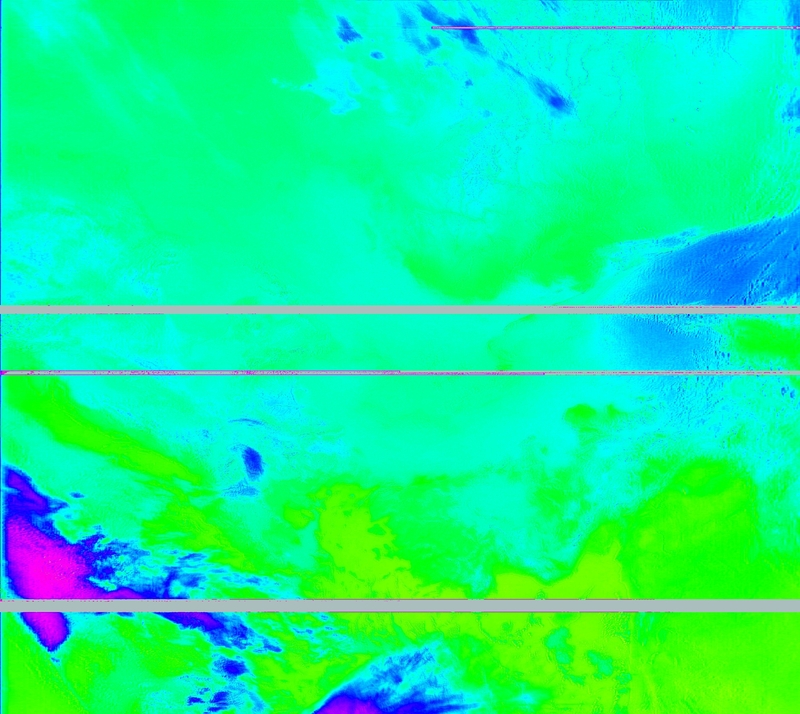 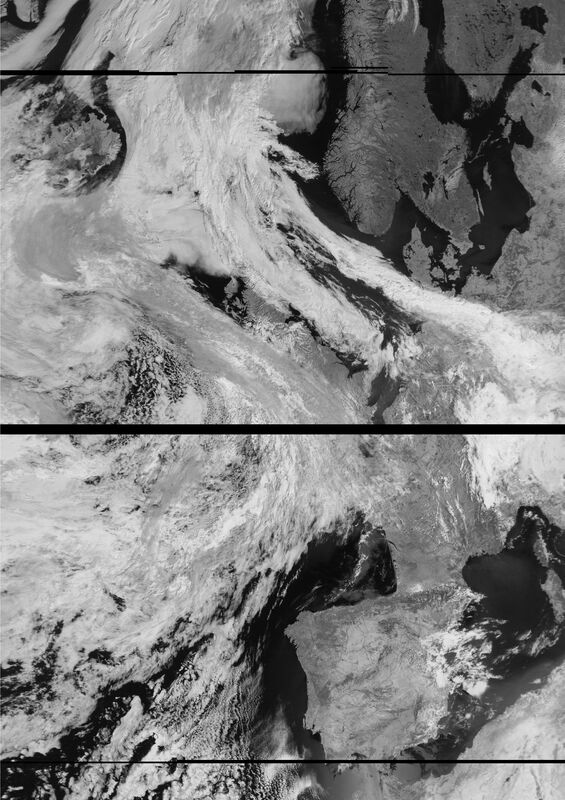 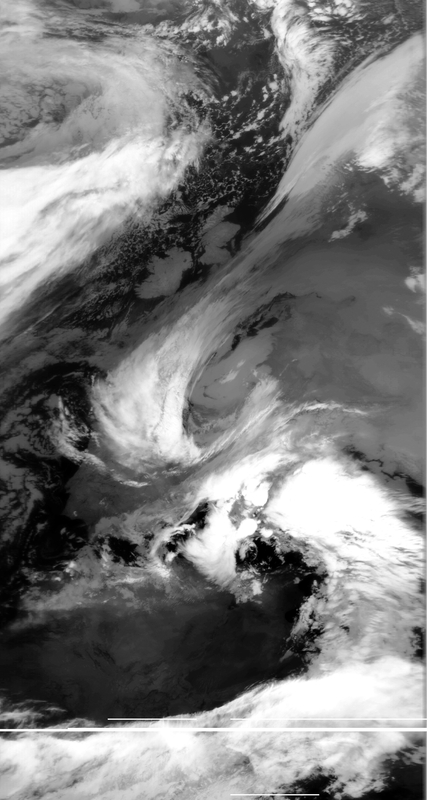 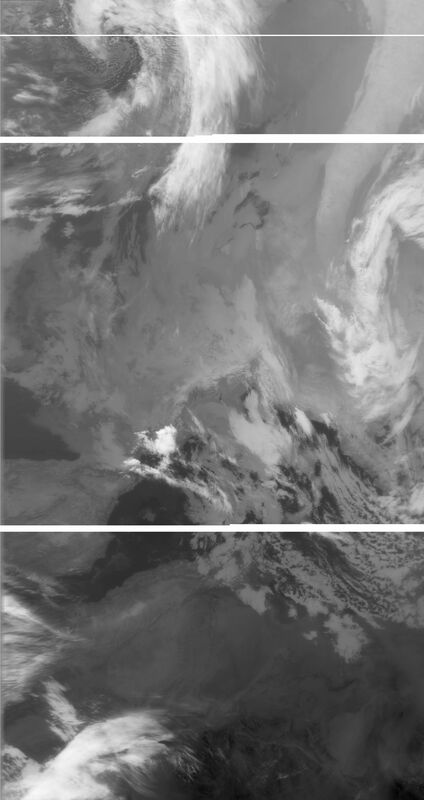 In June 2015 two clever programmers, Oleg and Vasili, published a nice project: AMIGOS (Amateur Meteor Images Global Observation System) combines the various software needed to allow fully automatic reception of the LRPT signal of Meteor M-N1 and M-N2. 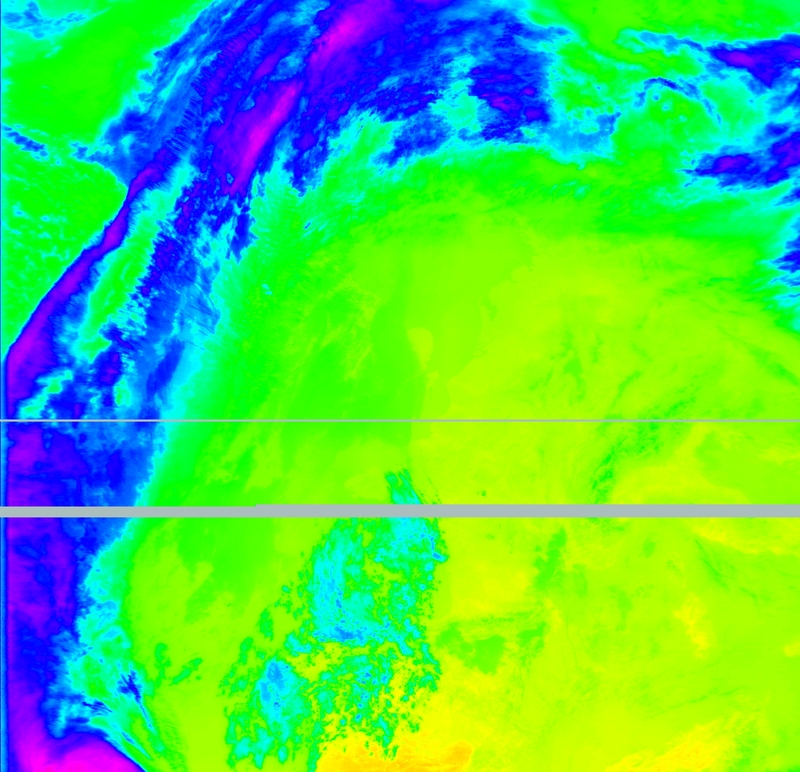 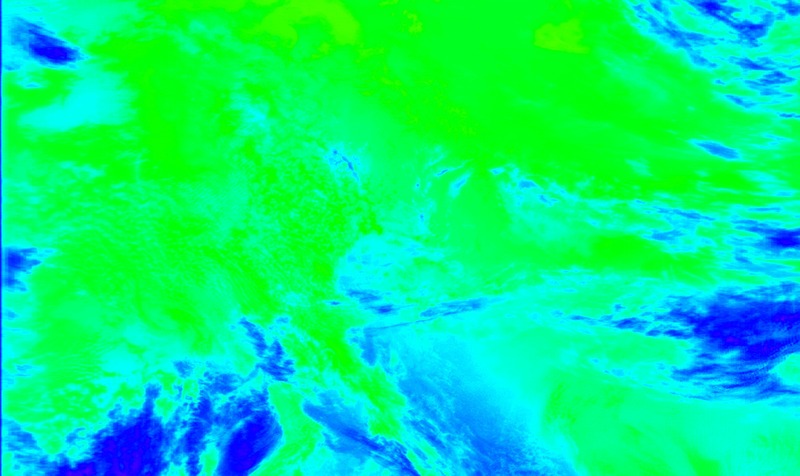 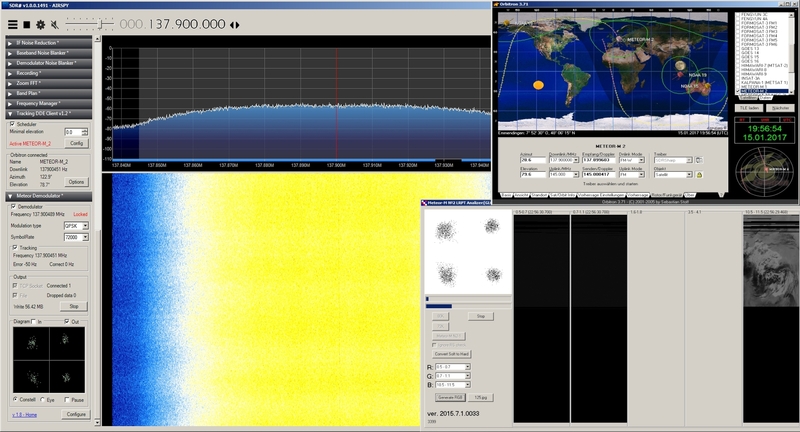 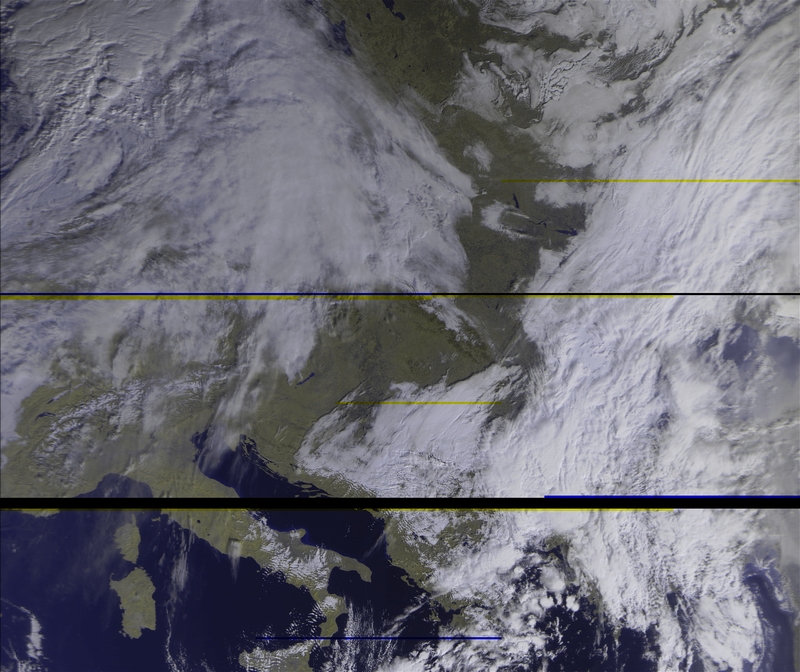 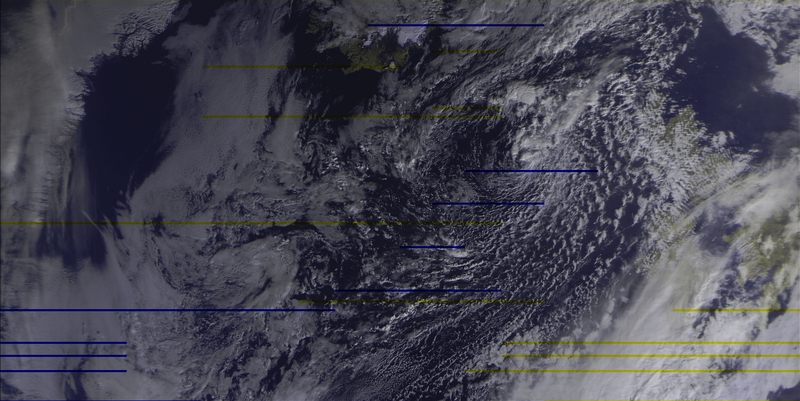 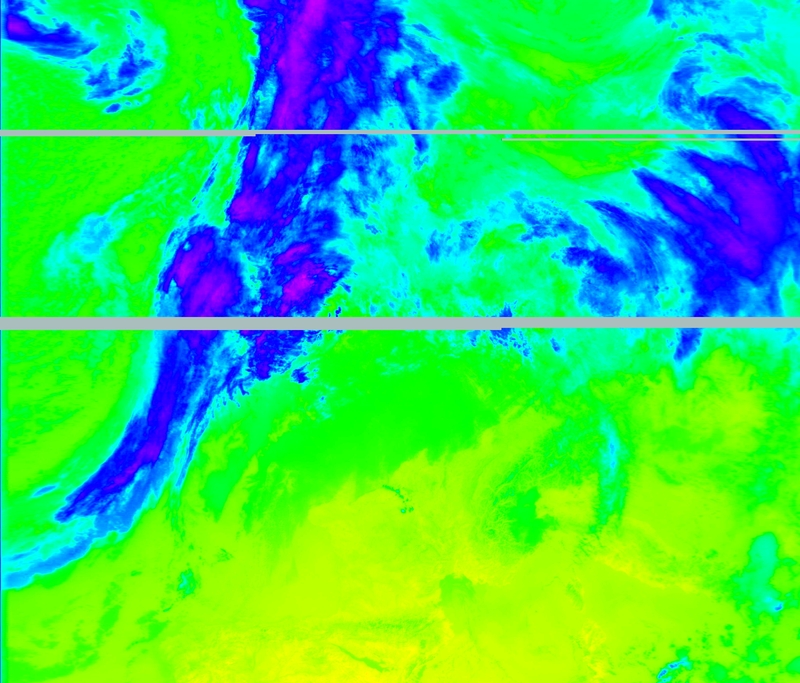 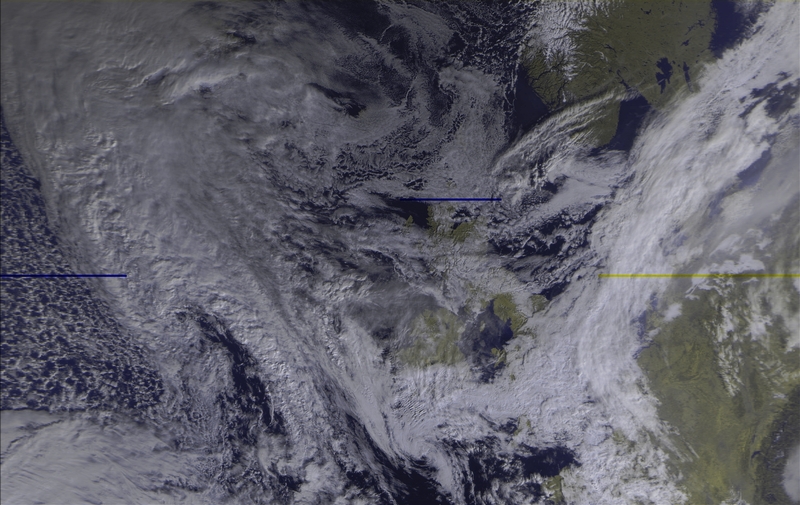 Two plugins for SDR# provide a QPSK demodulator and a DDE interface to the satellite tracking program Orbitron. Thus Orbitron determines AOS and LOS times and calculates the doppler shift of the receive frequency. 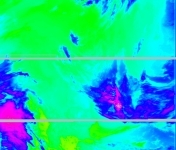 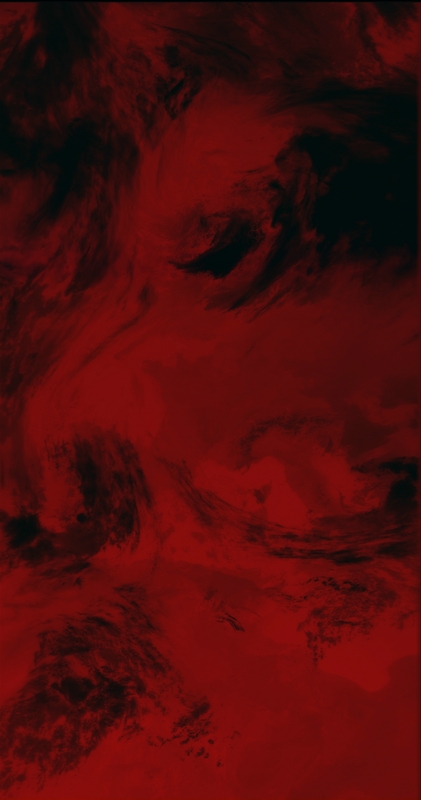 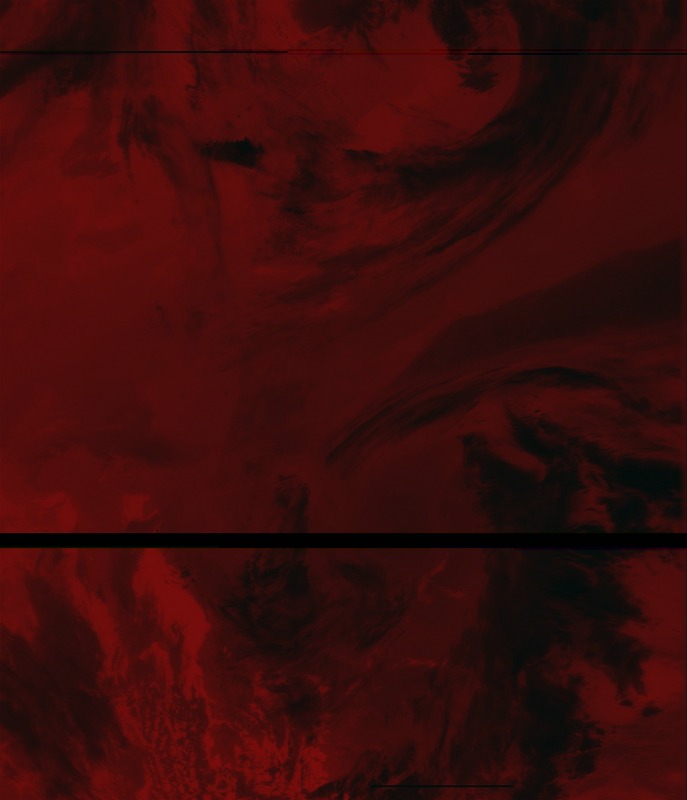 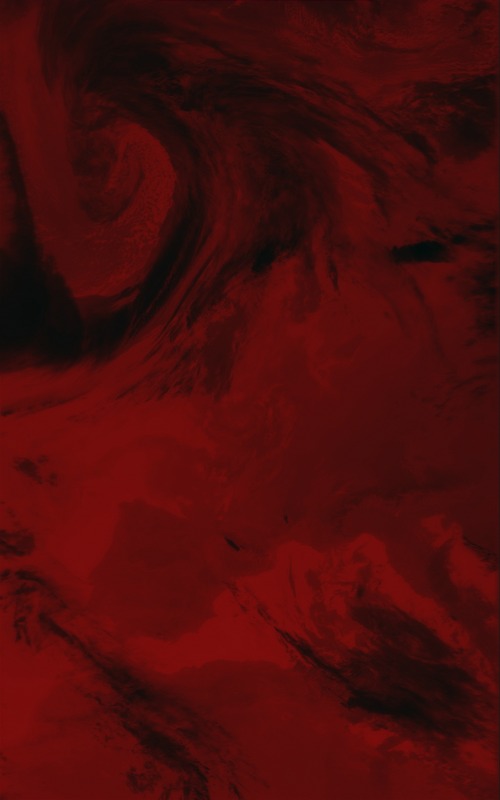 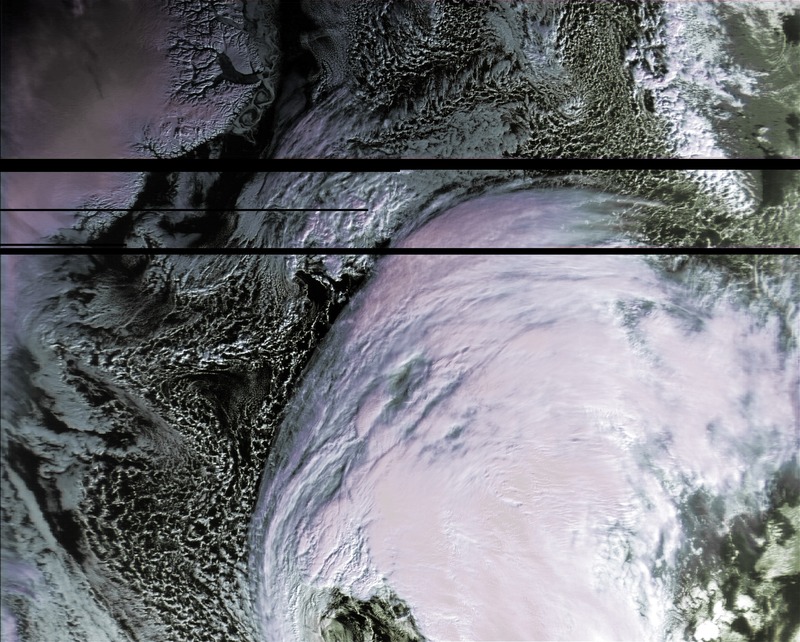 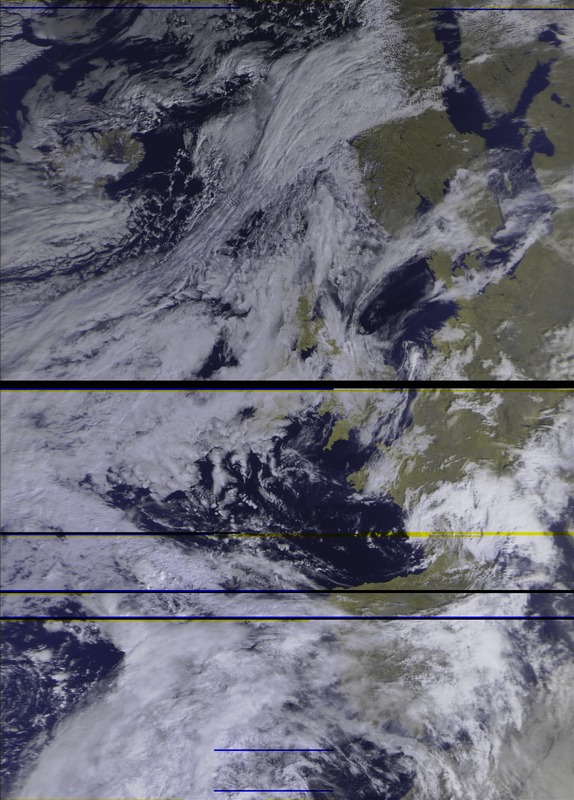 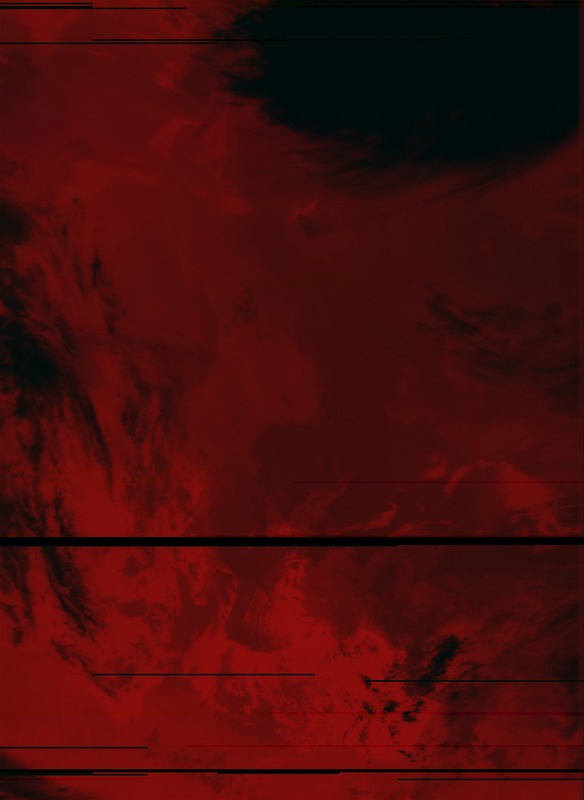 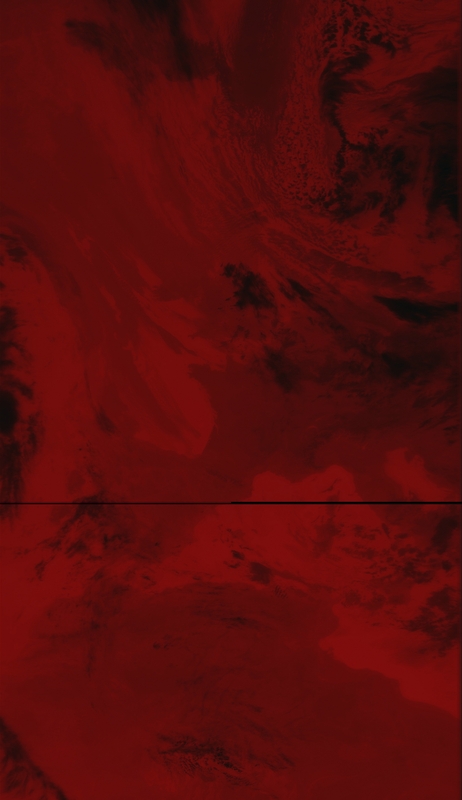 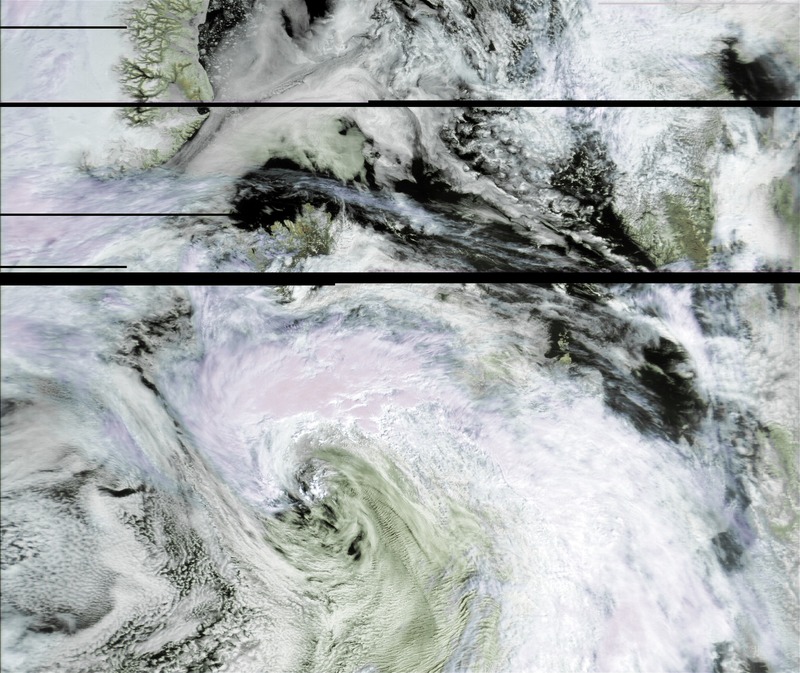 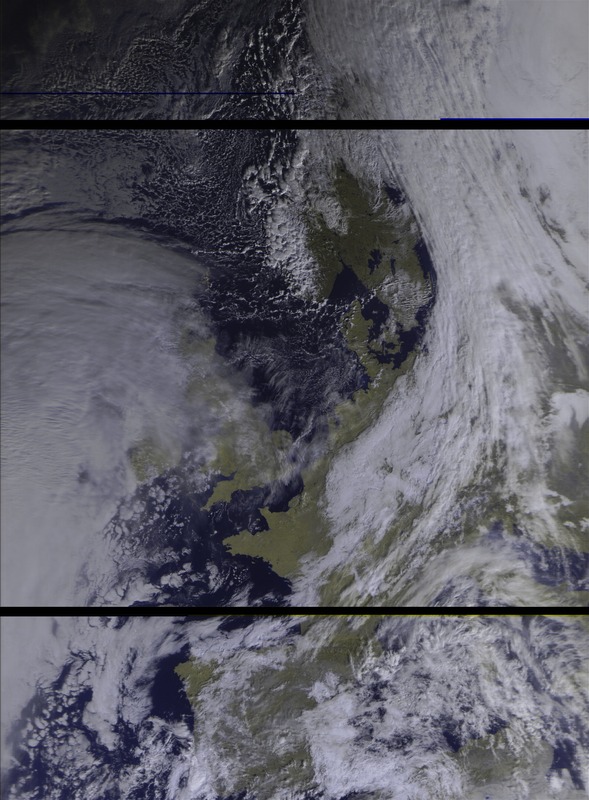 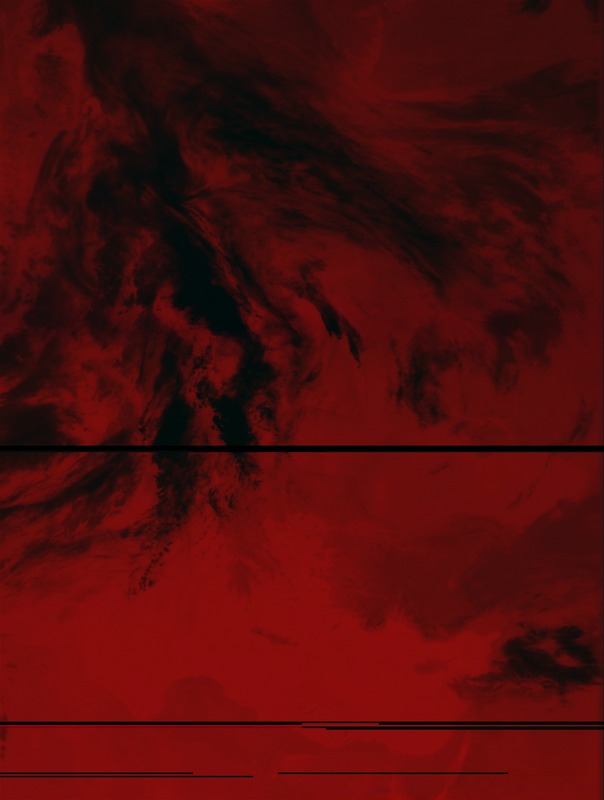 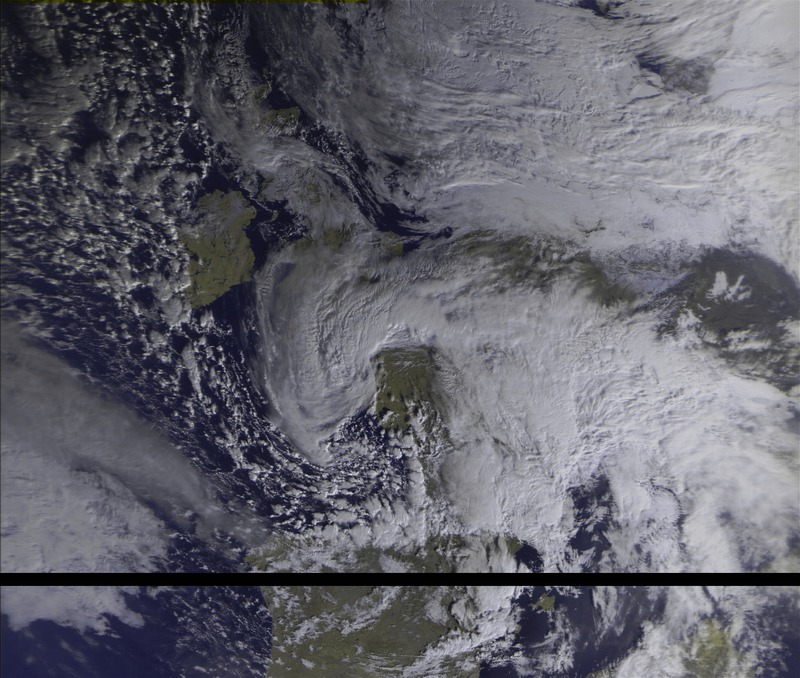 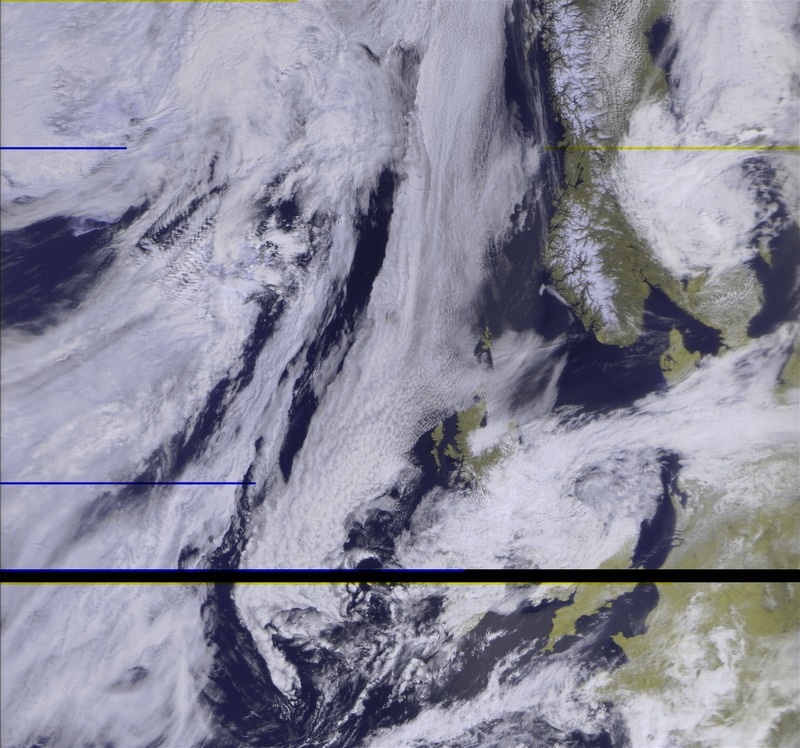 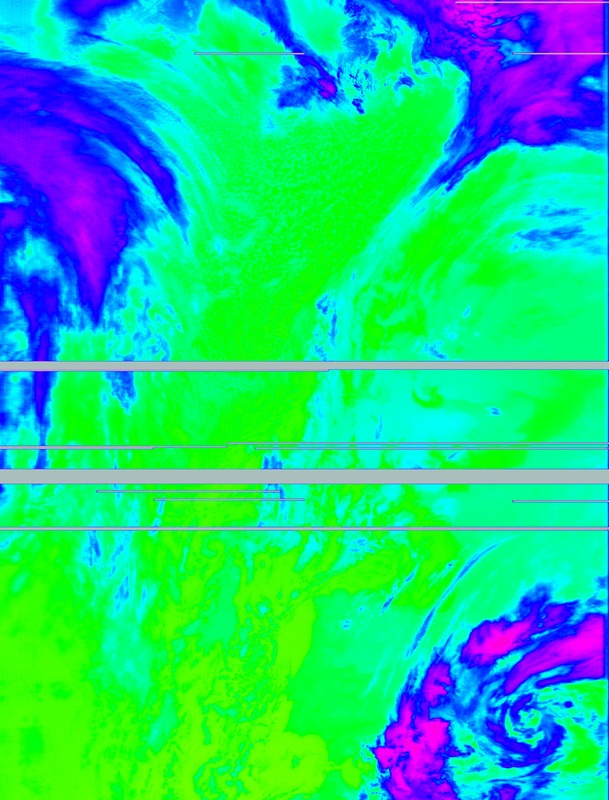 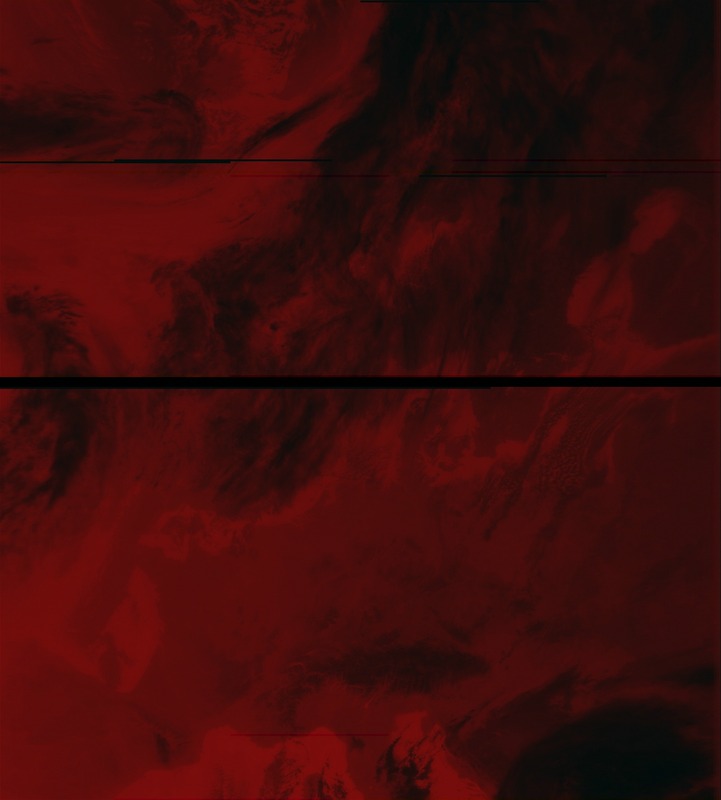 SDR# uses this data both, in the QPSK demodulator to receive and demodulate the downlink signal of Meteor M-N1 and M-N2 and also start a decoder software to decode the pictures. The demodulator plugin sends the data via an TCP software interface to the decoder software. In addition the decoder software allows to upload the raw data in realtime to a common server. 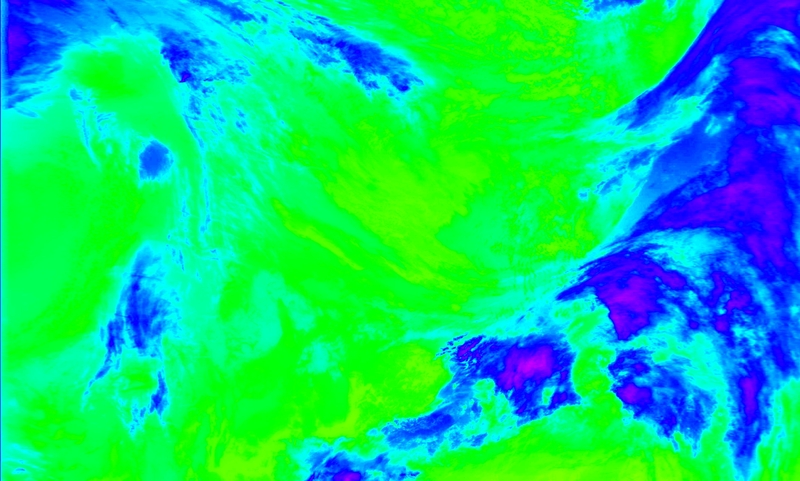 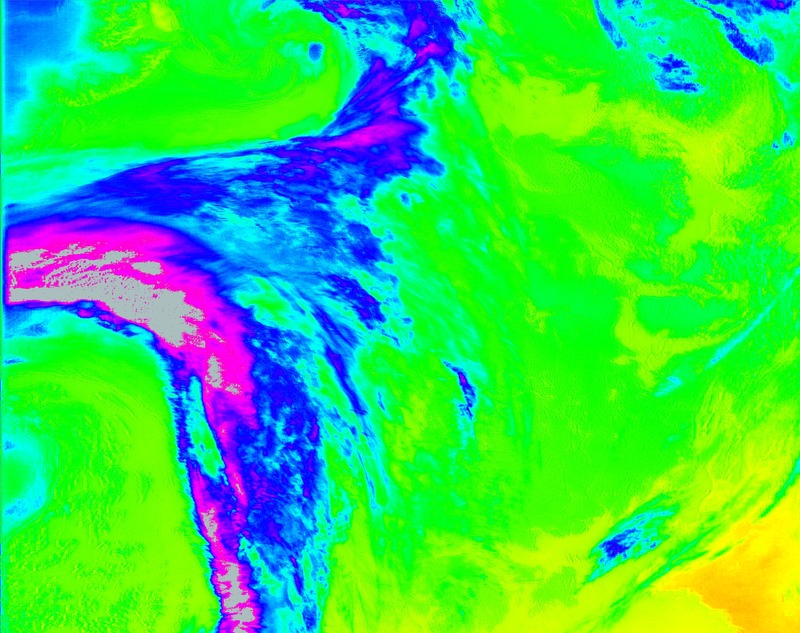 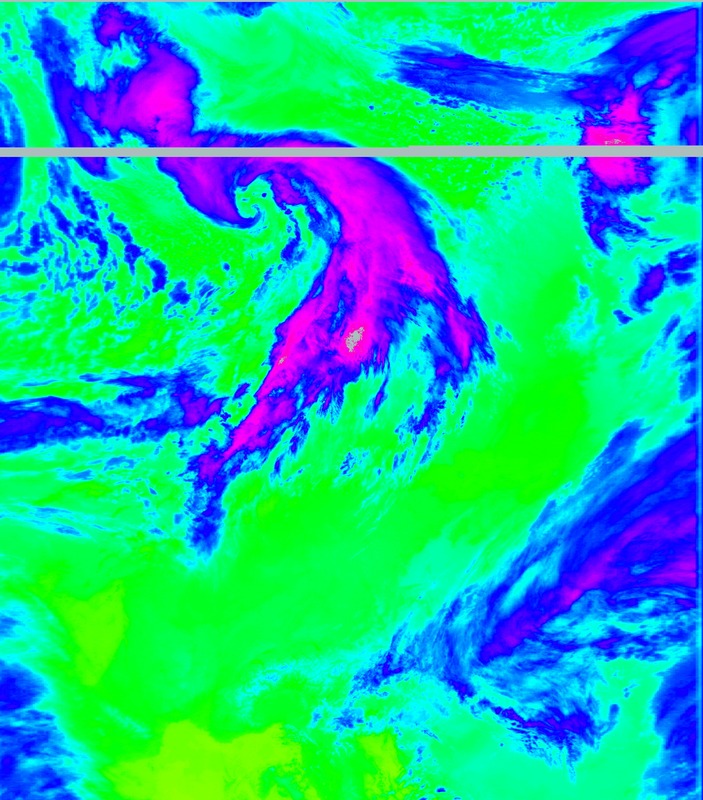 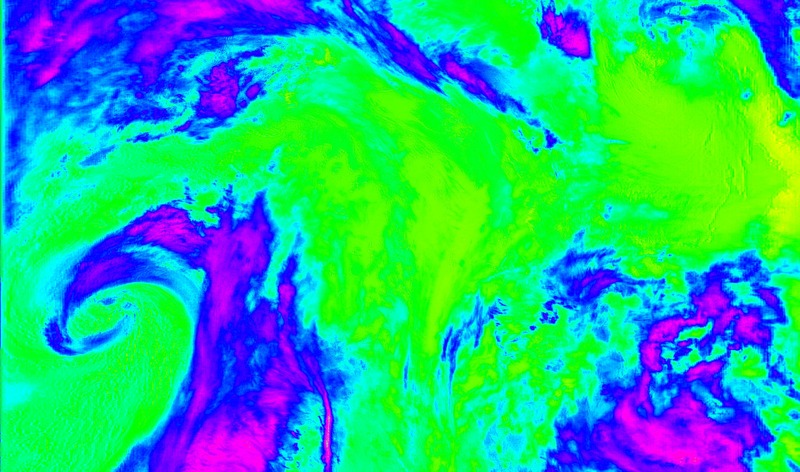 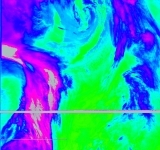 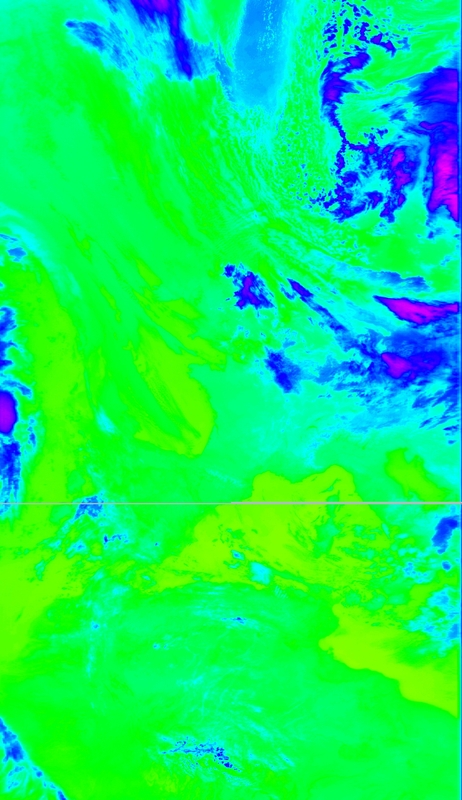 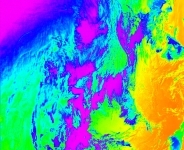 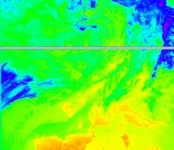 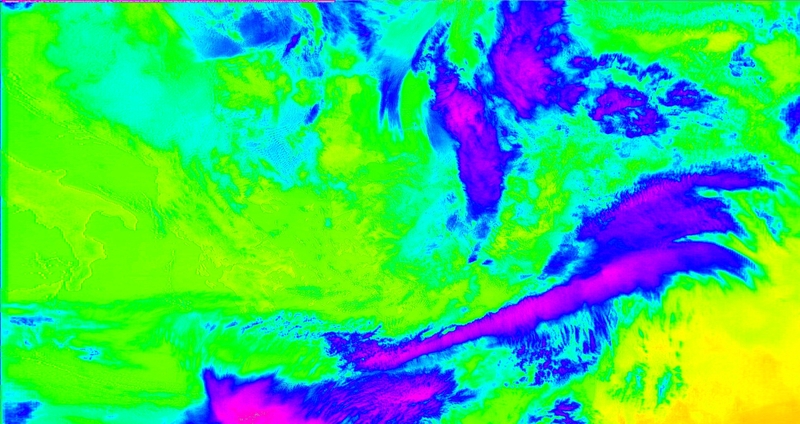 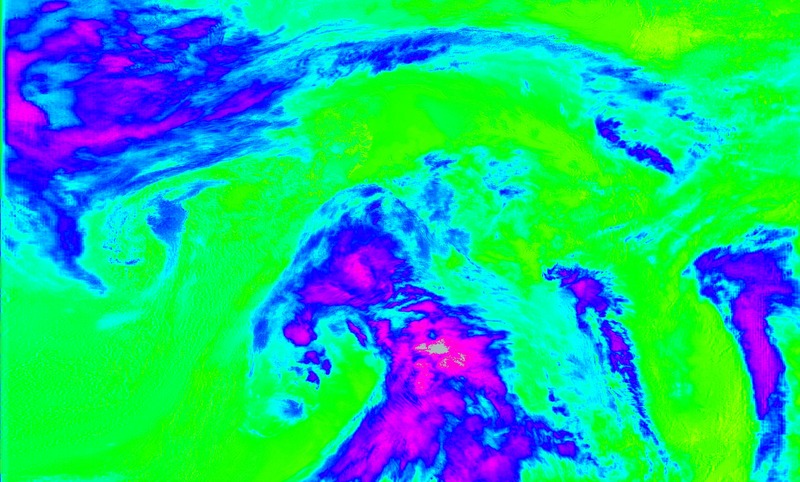 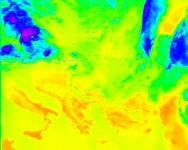 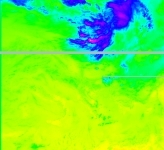 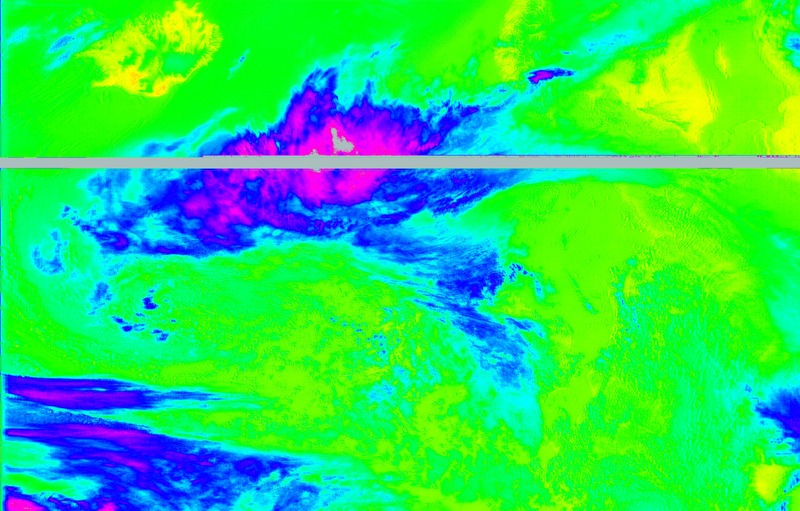 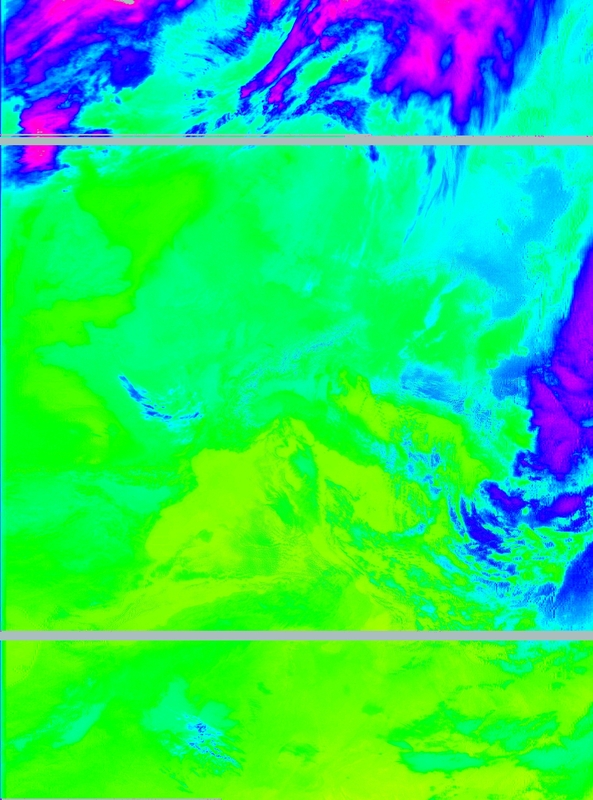 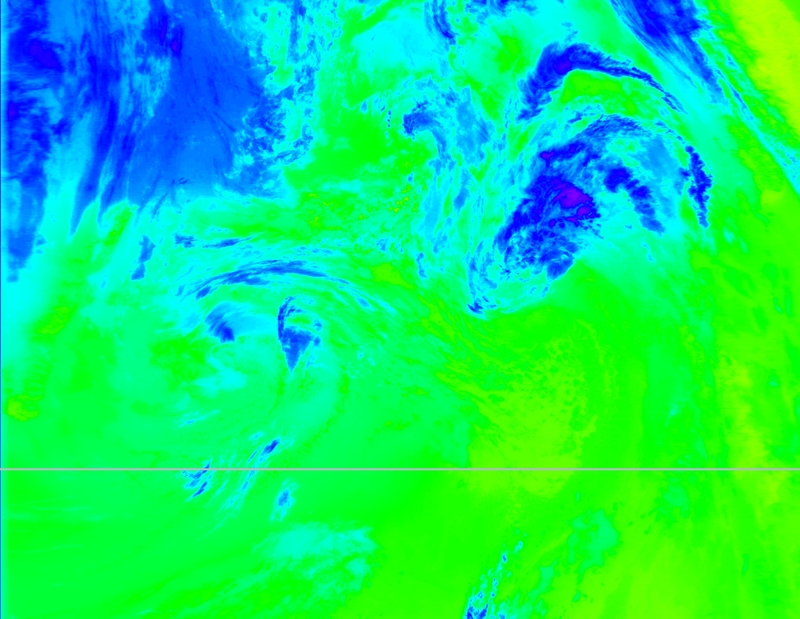 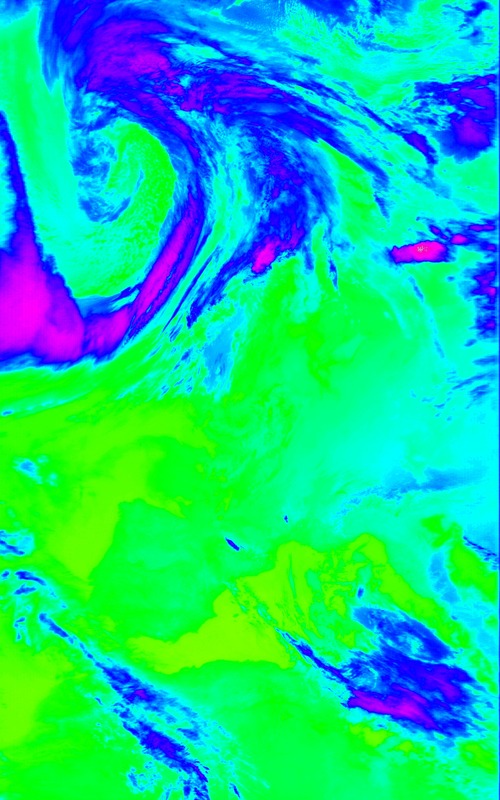 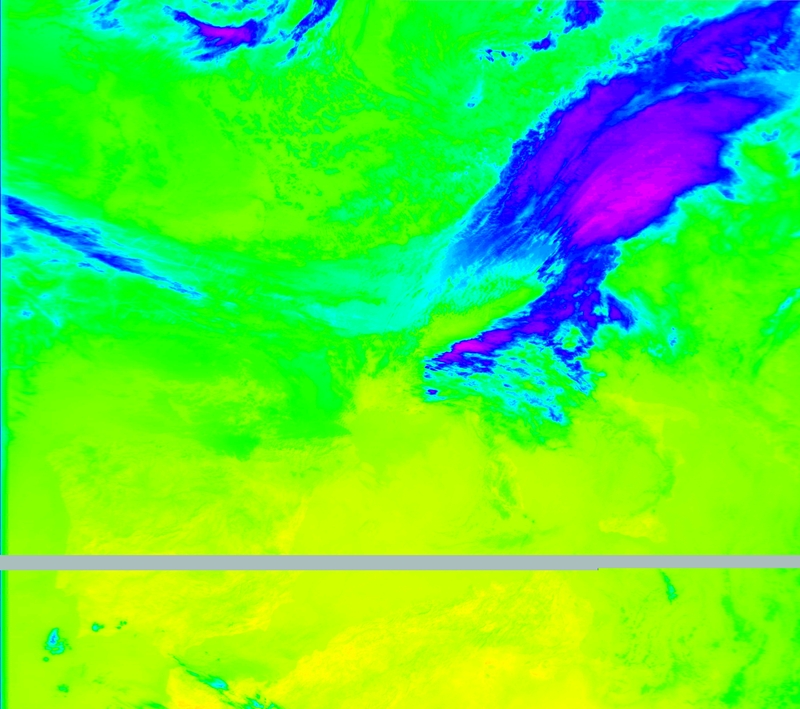 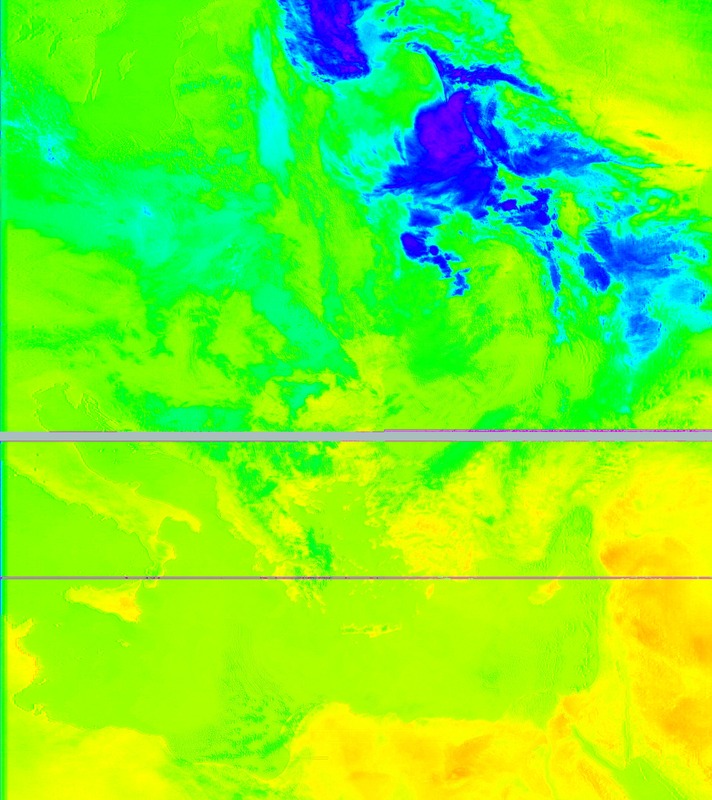 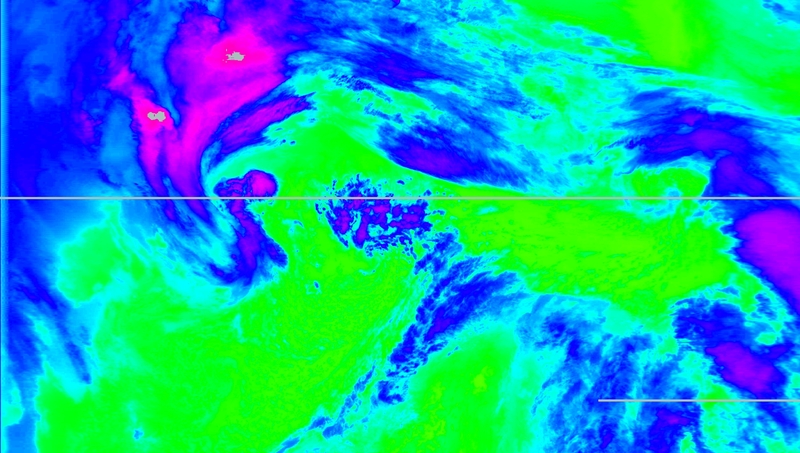 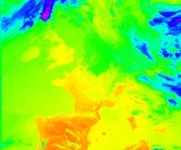 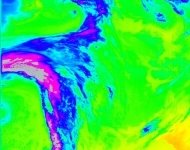 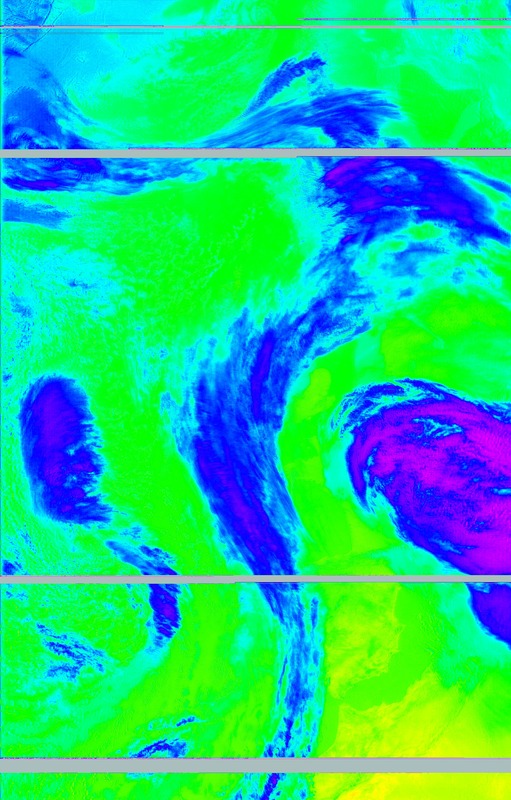 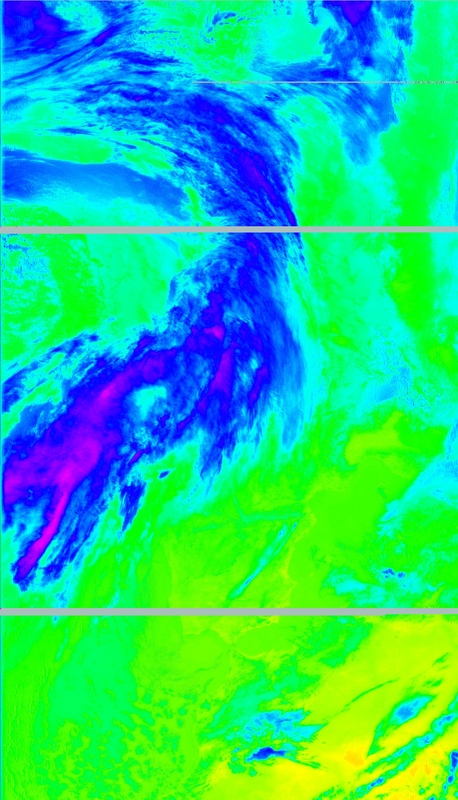 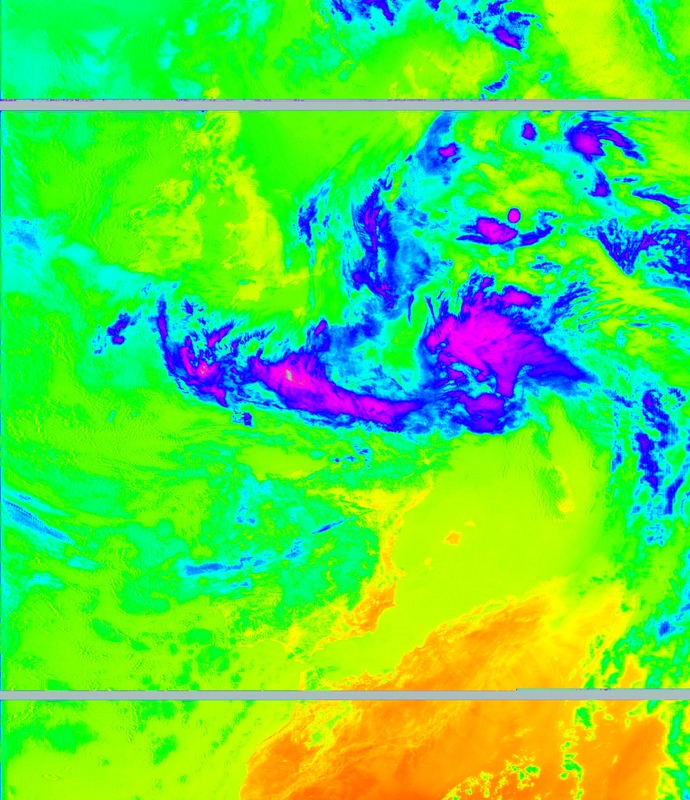 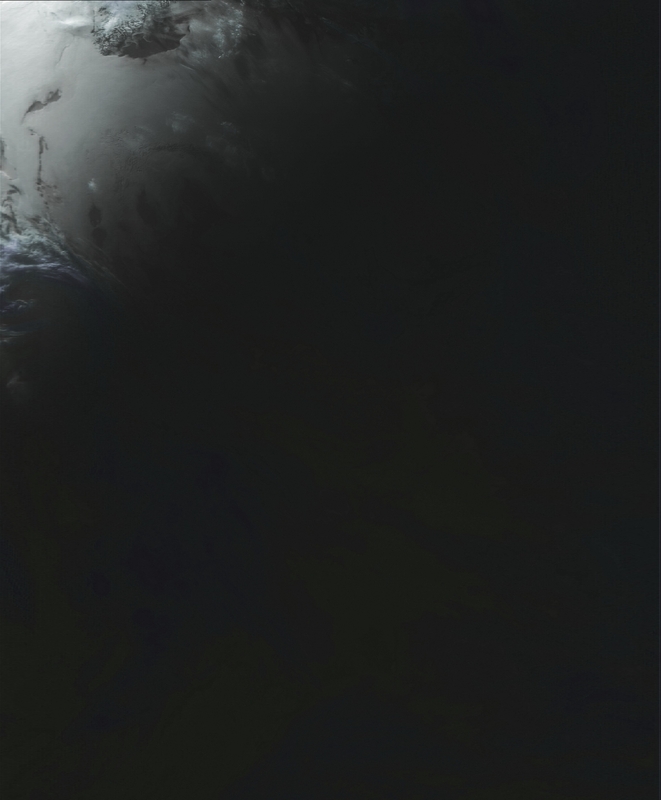 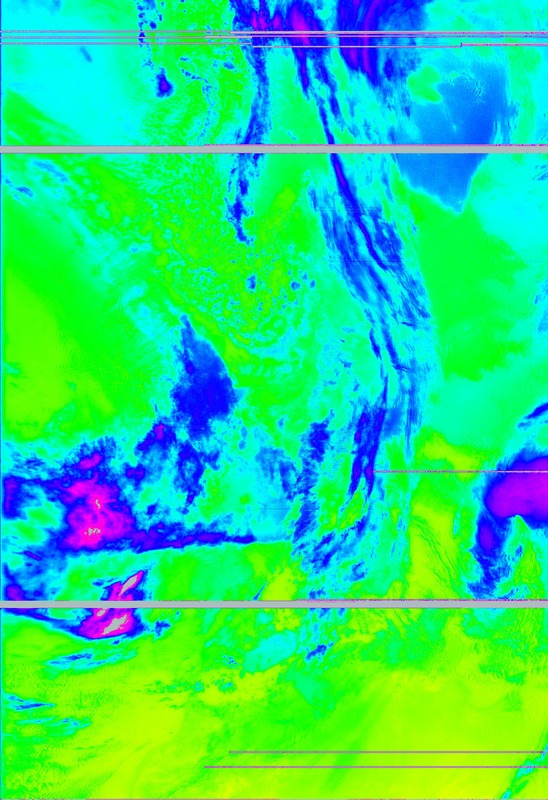 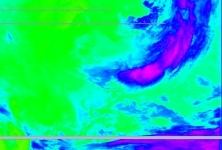 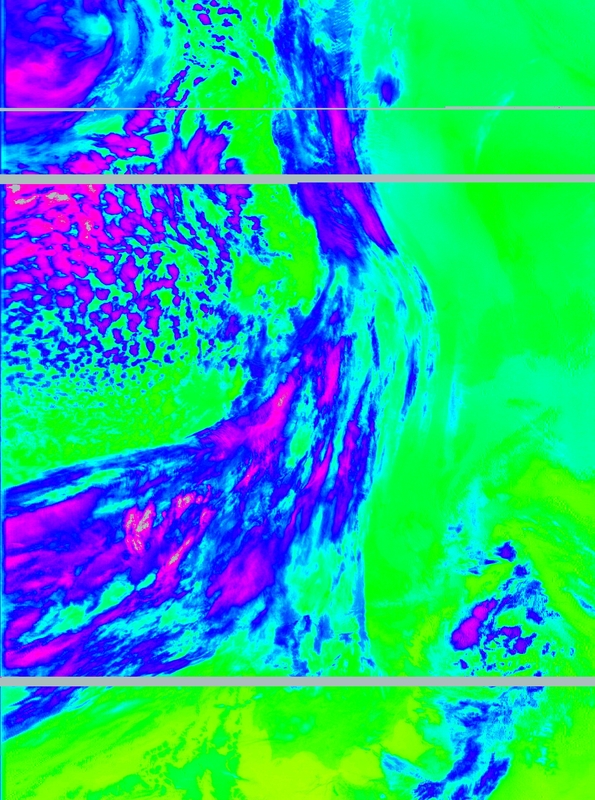 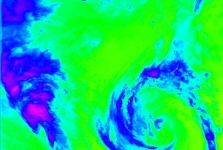 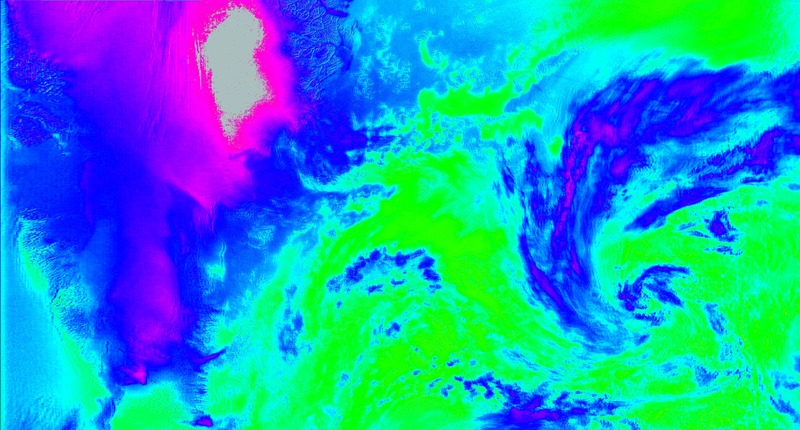 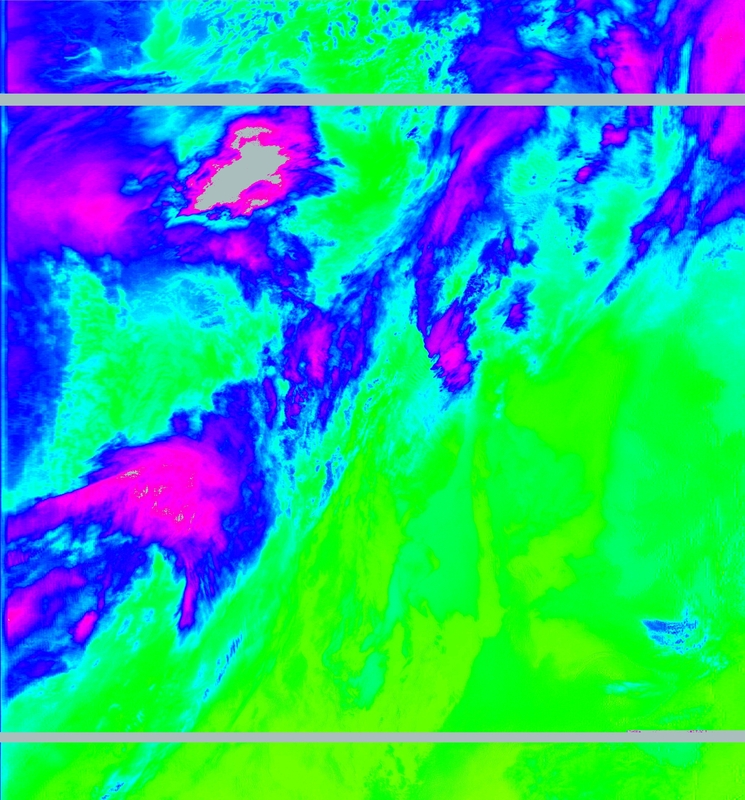 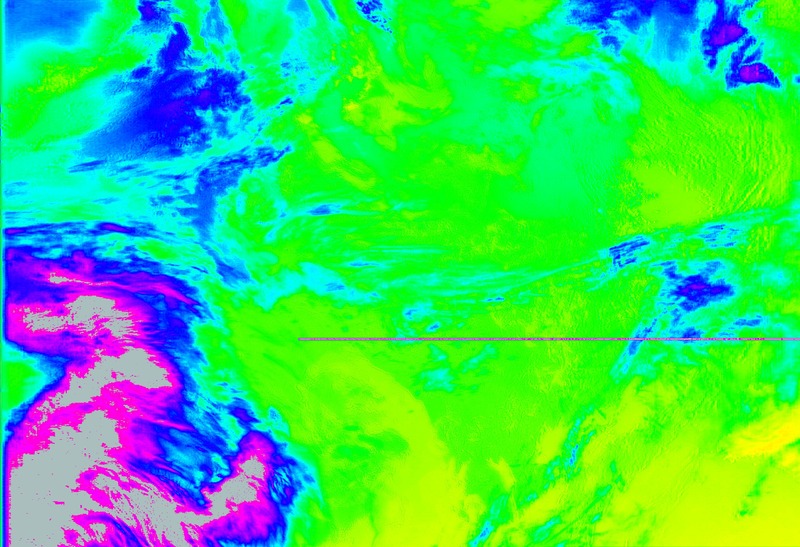 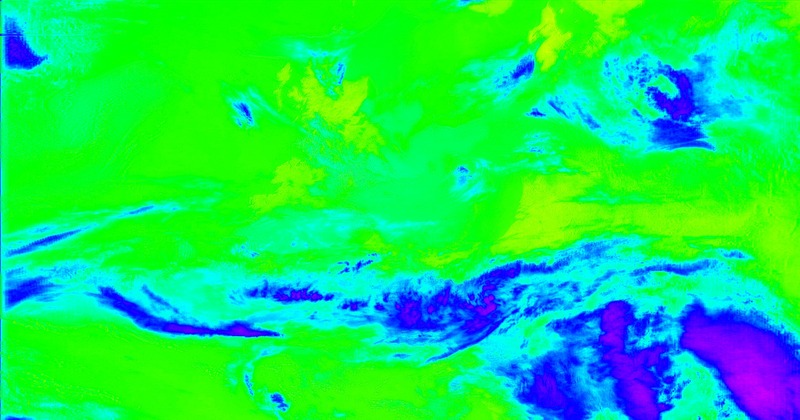 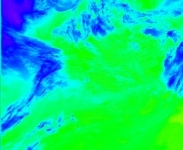 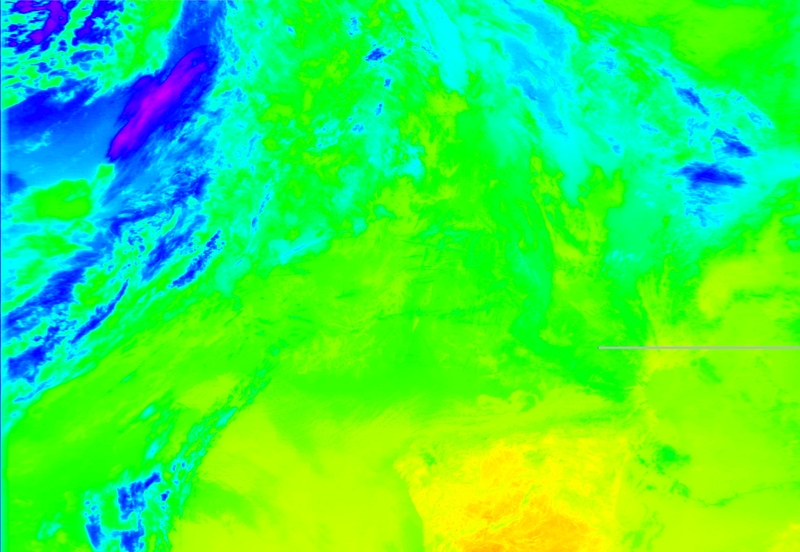 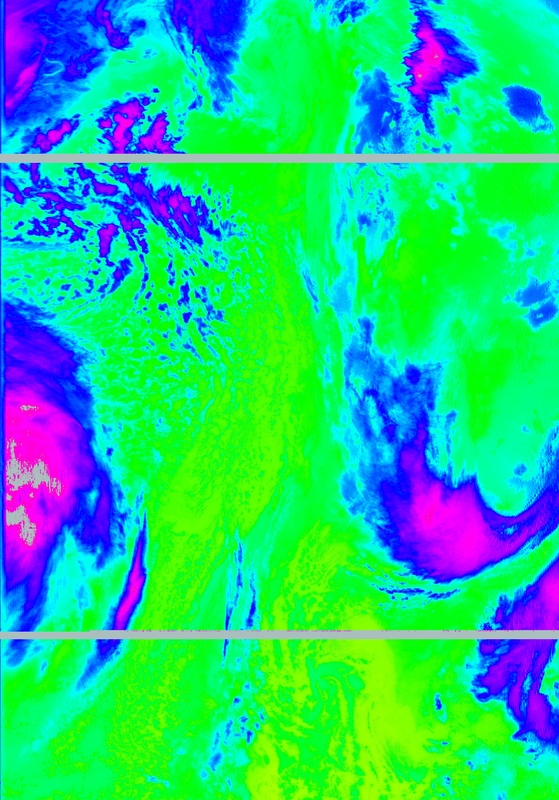 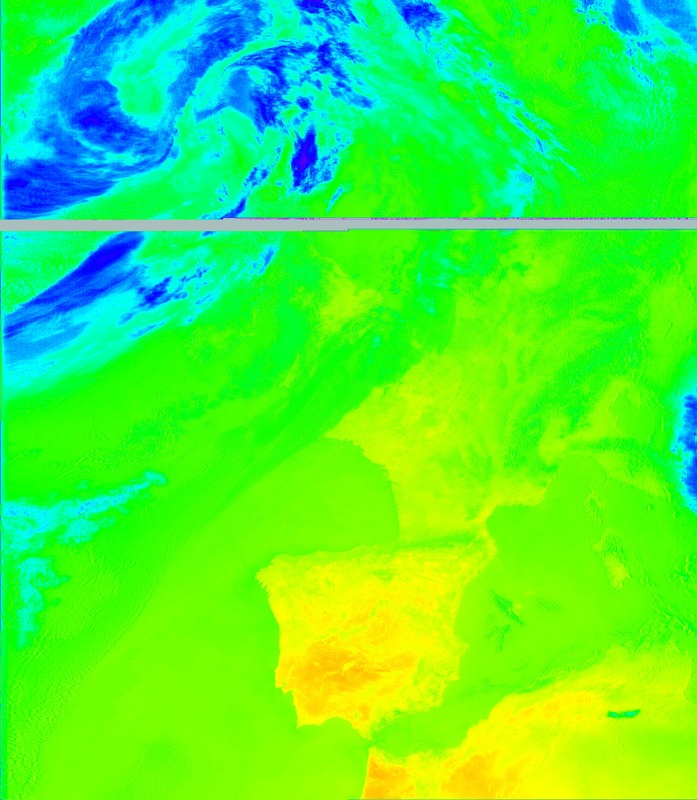 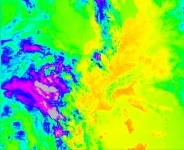 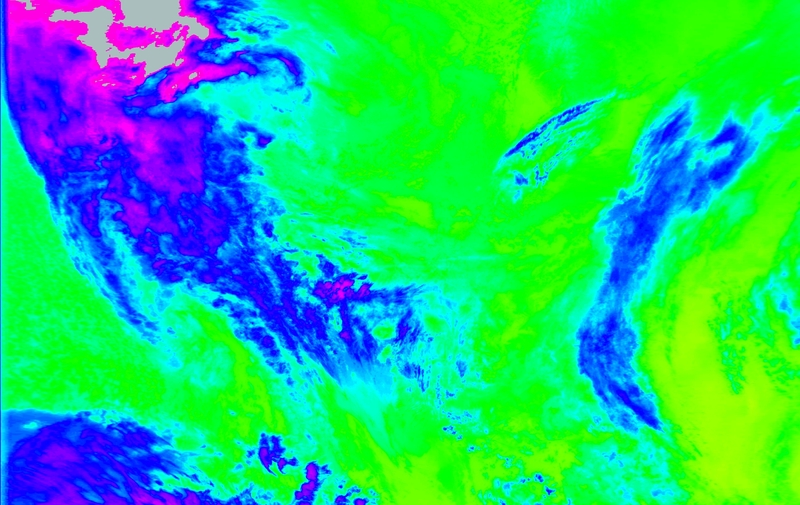 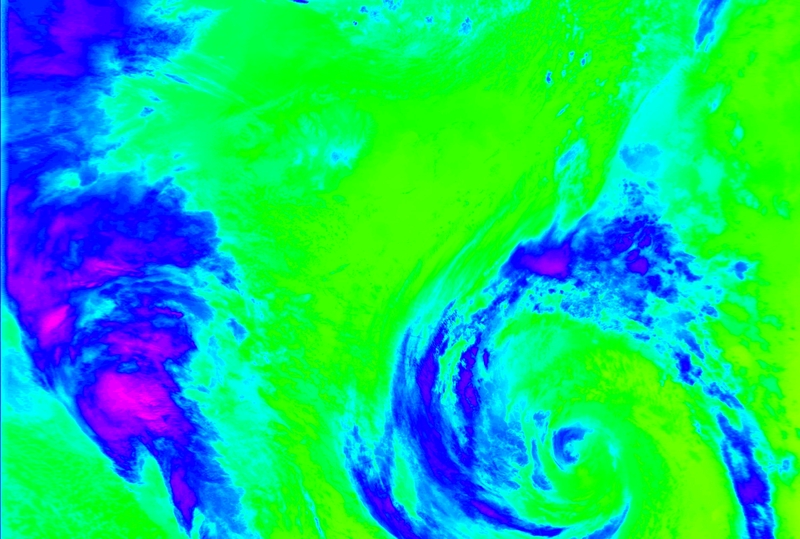 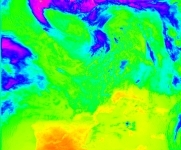 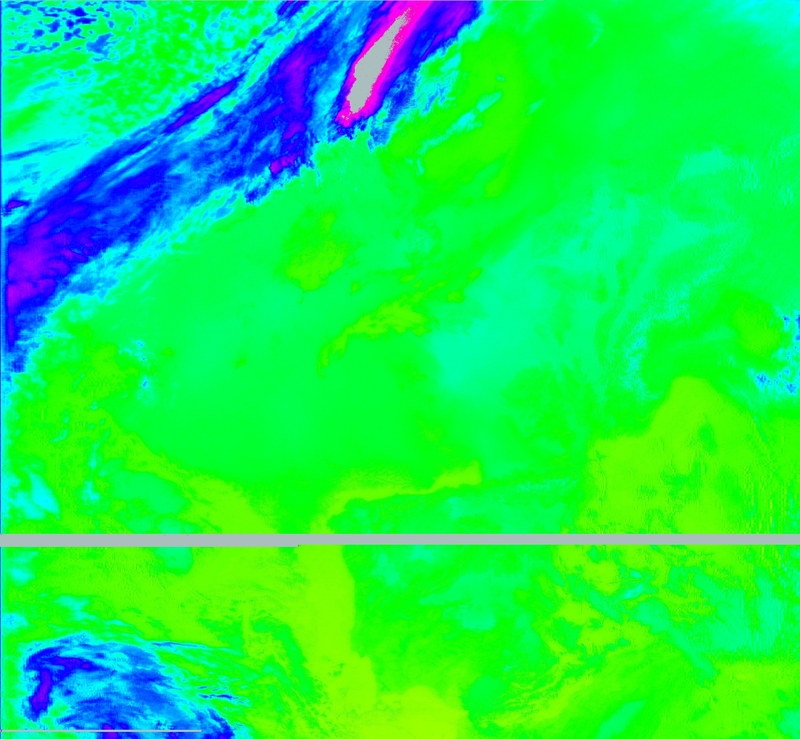 The inputs of all users are used realtime to create the final picture. 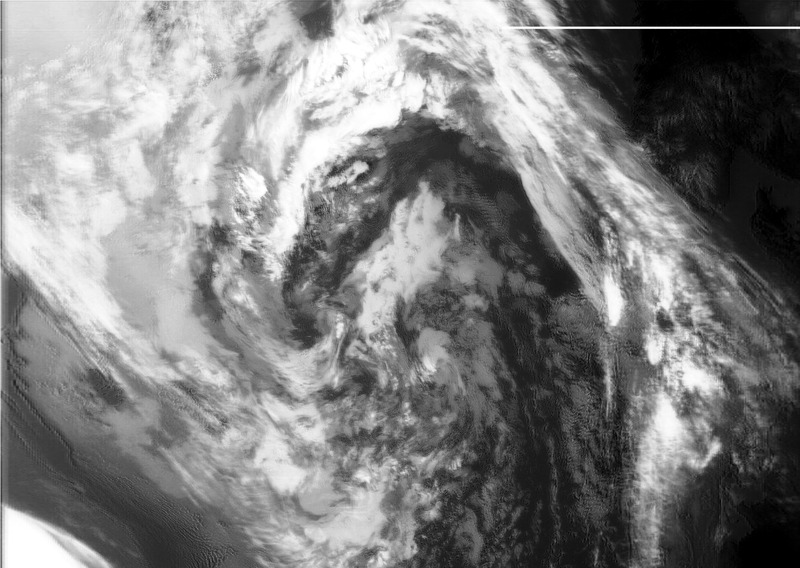 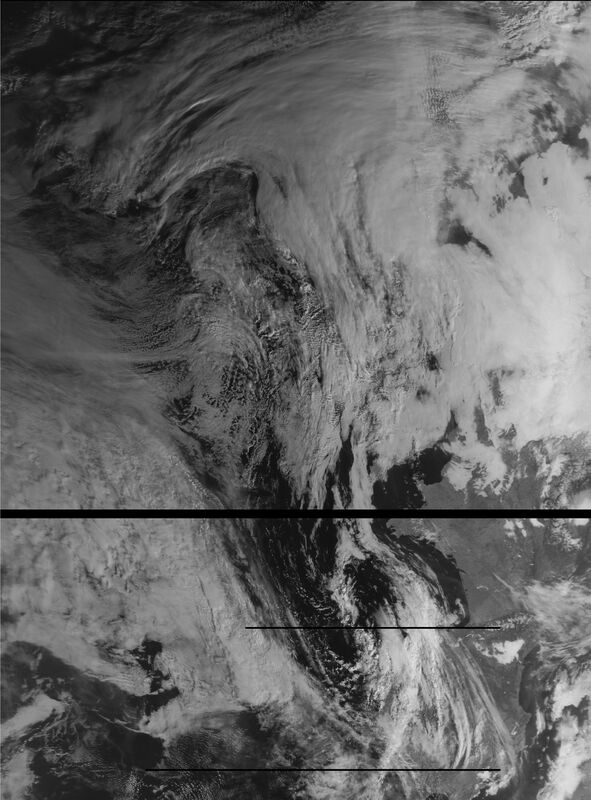 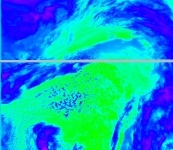 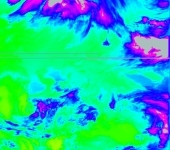 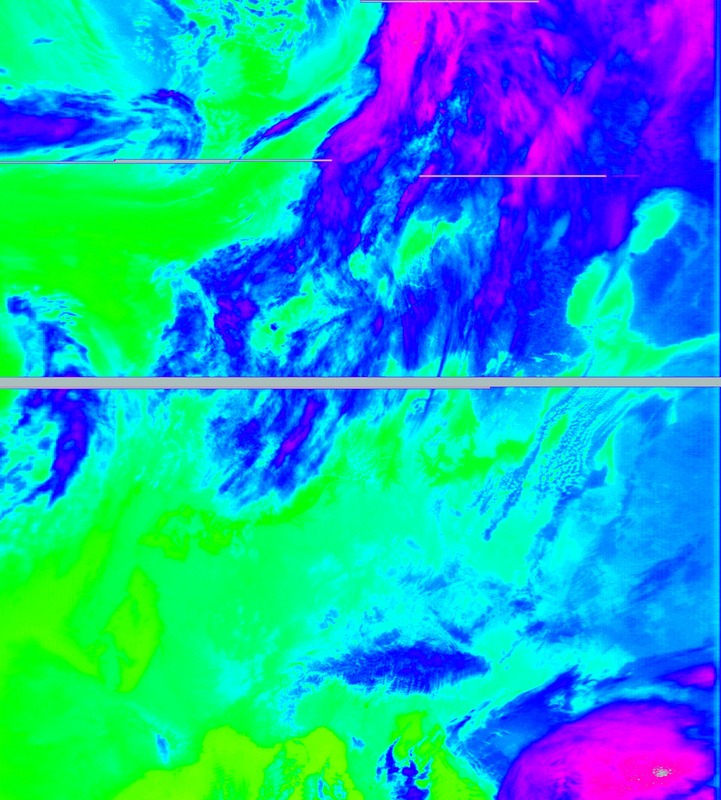 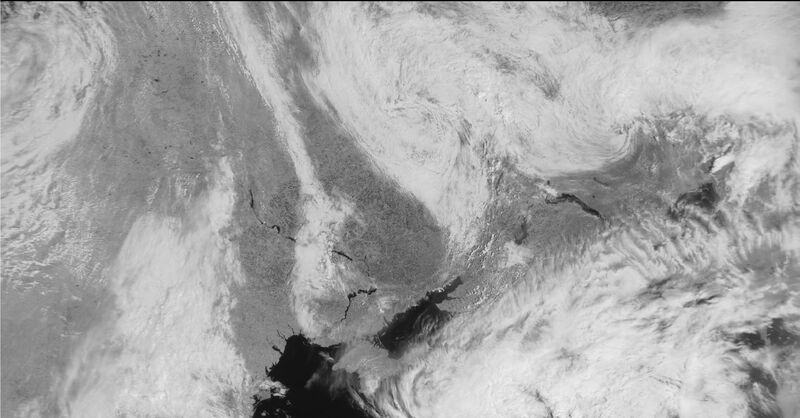 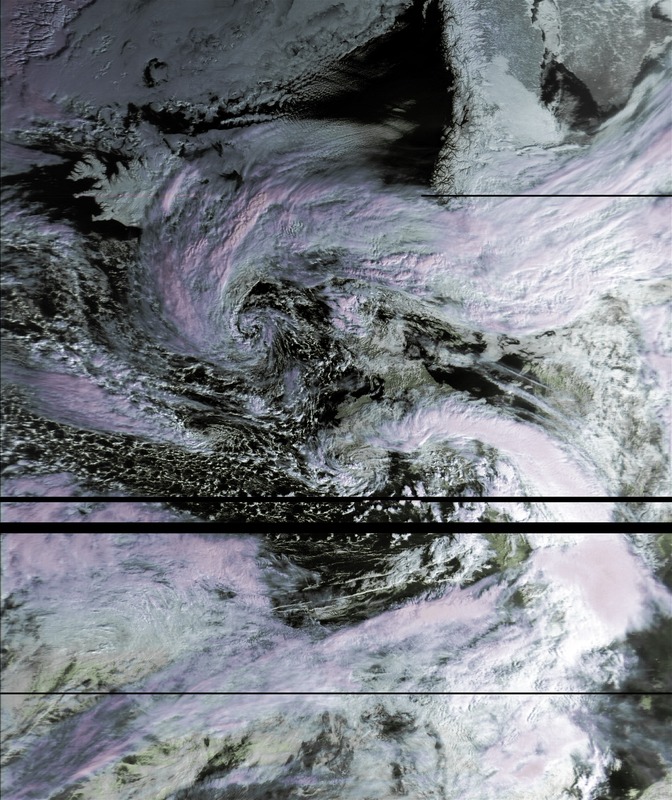 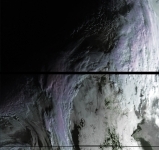 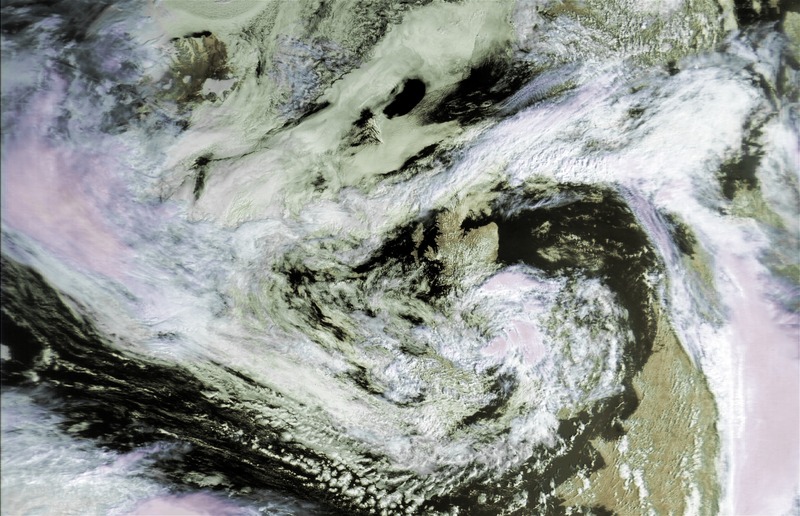 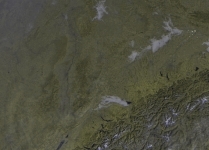 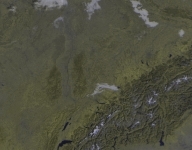 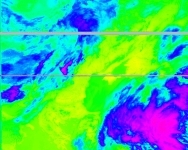 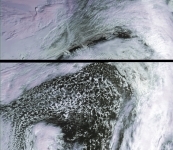 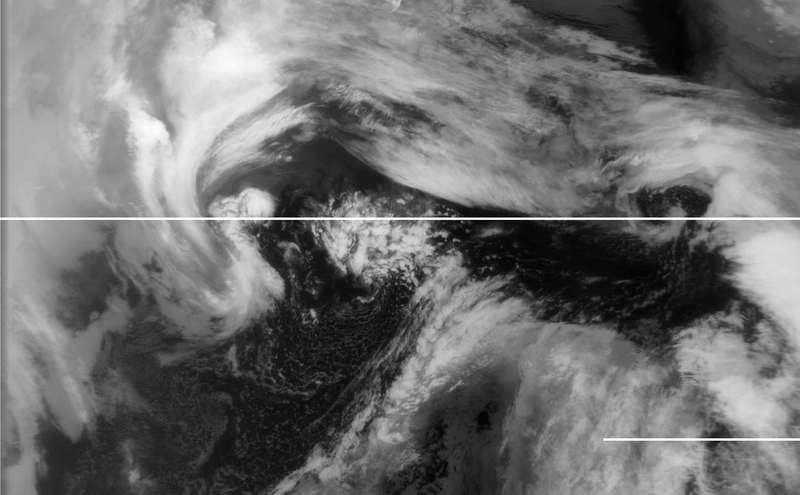 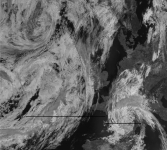 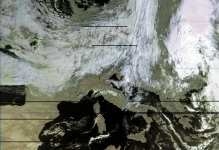 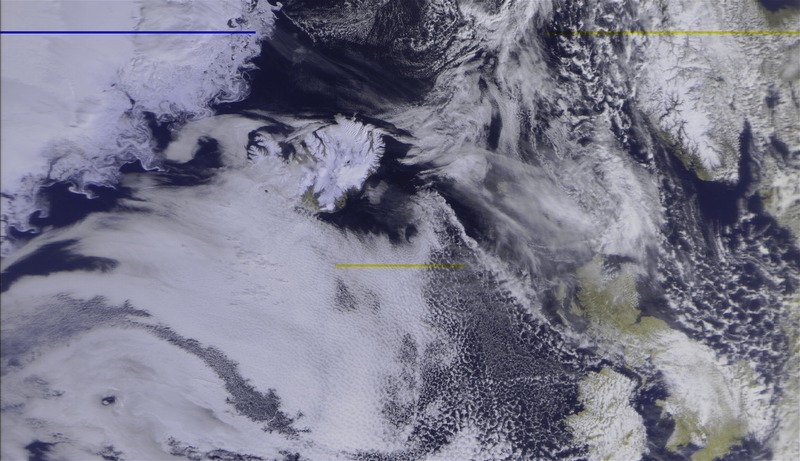 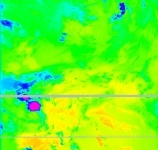 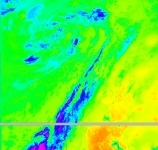 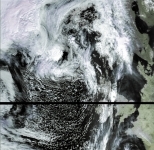 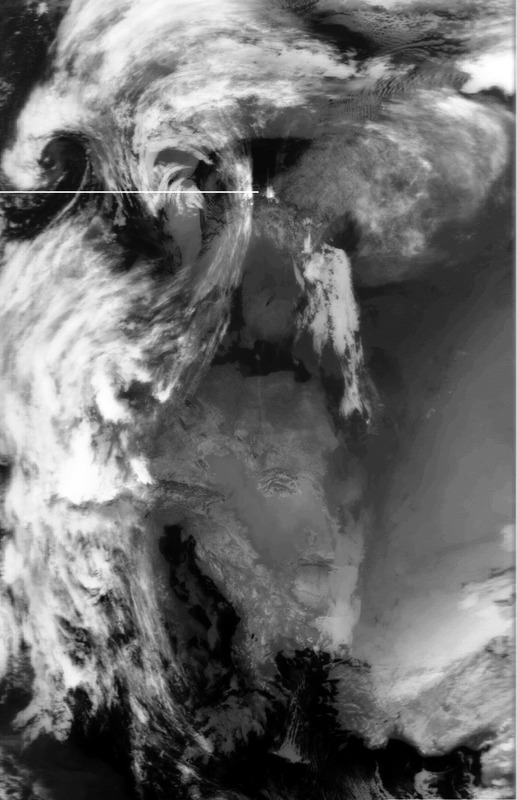 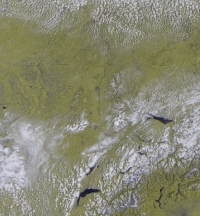 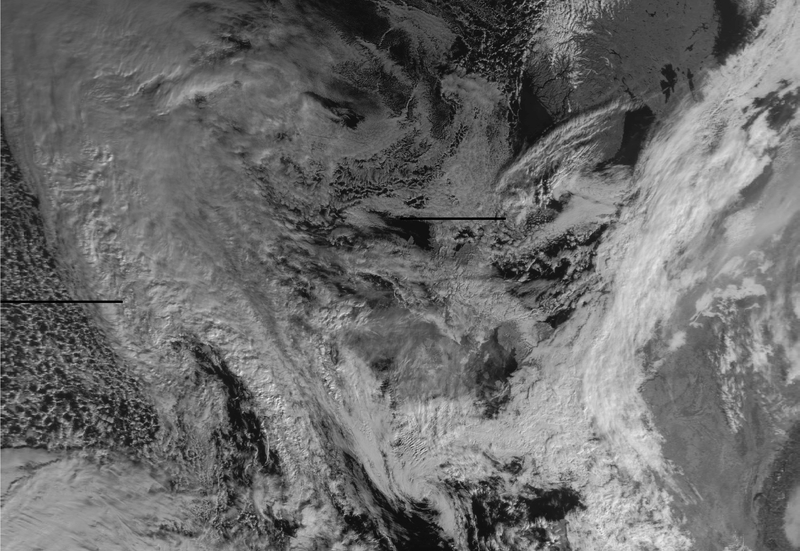 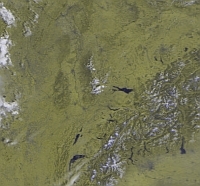 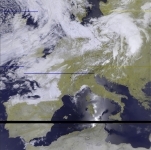 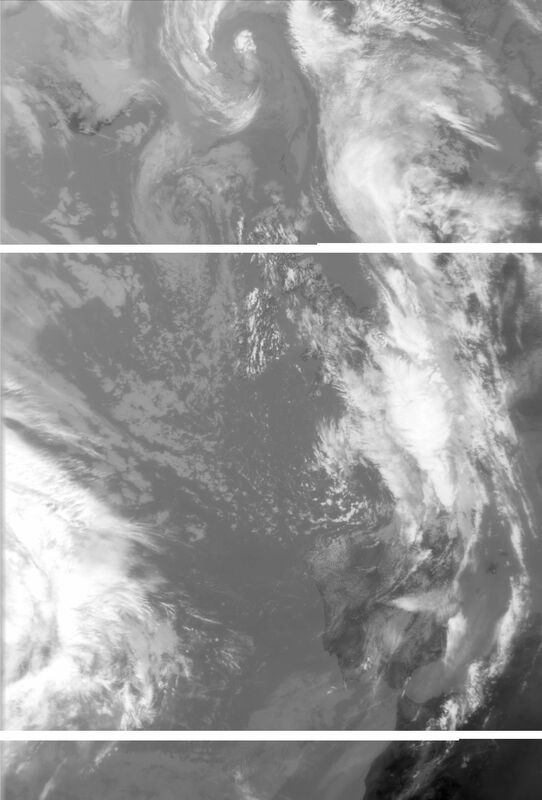 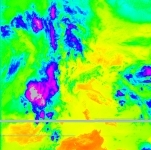 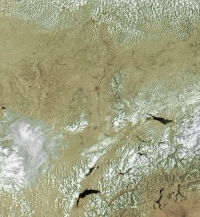 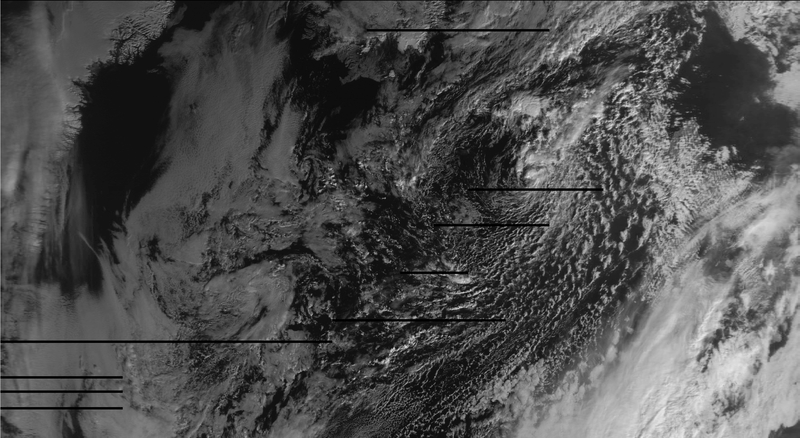 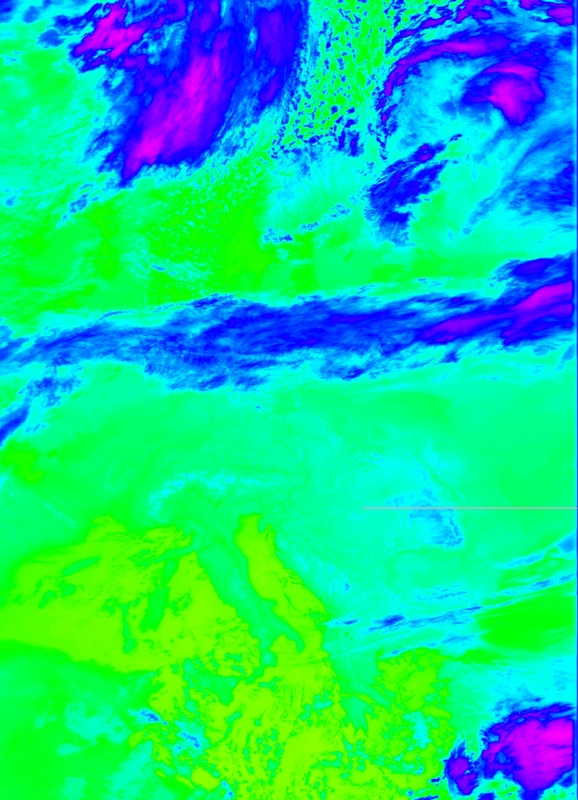 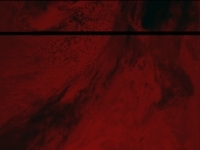 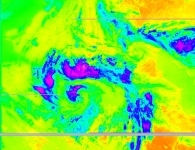 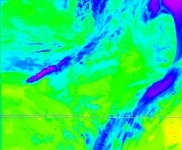 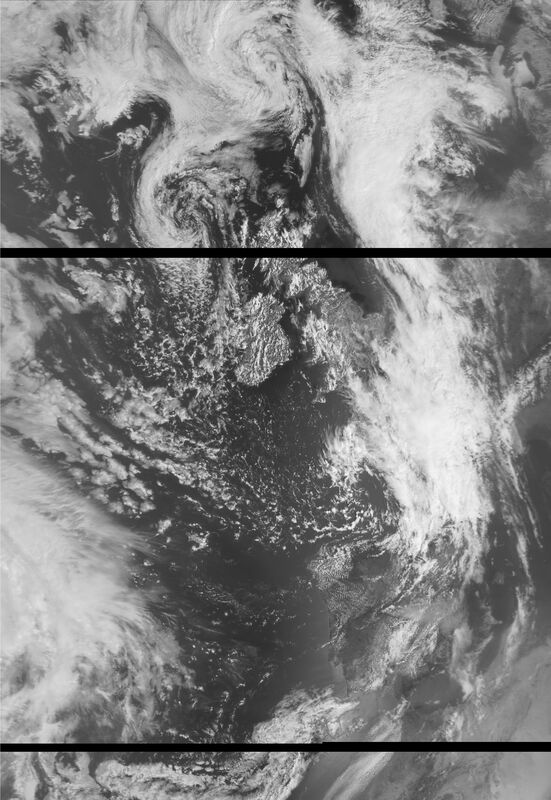 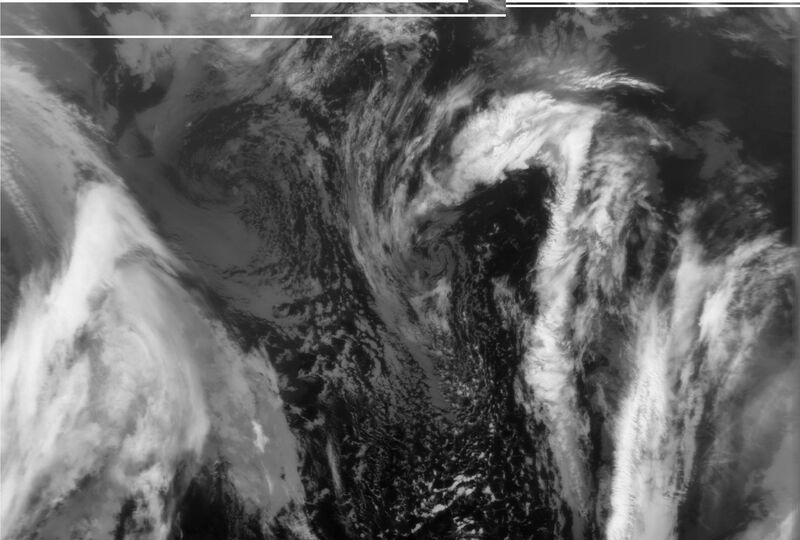 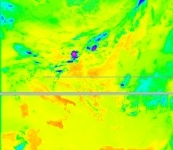 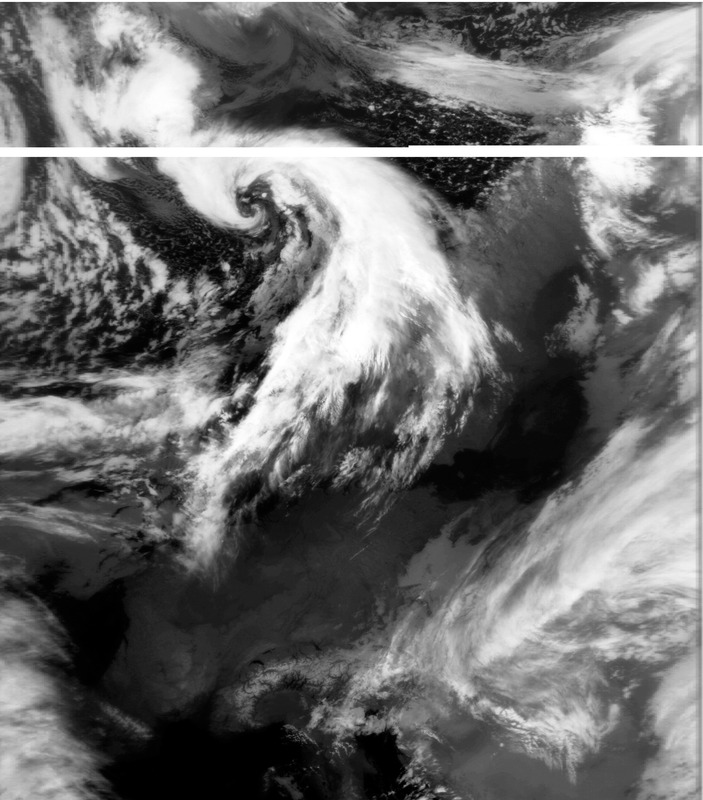 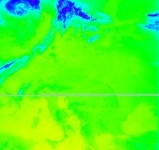 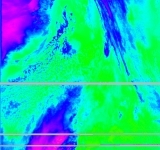 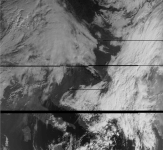 Thus signal dropouts of single users get compensated and one can even see the live picture sent by Meteor M-N1 and M-N2 received by another AMIGOS groundstation when not visible at the own location. Finally some postprocessing of the pictures like remapping, rotating, combining channels can be done offline using another nice software called LrptImageProcessor. 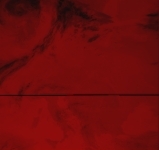 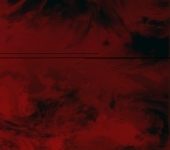 All used software is provided by the authors free of charge. Here is a screenshot of the various software windows interacting. 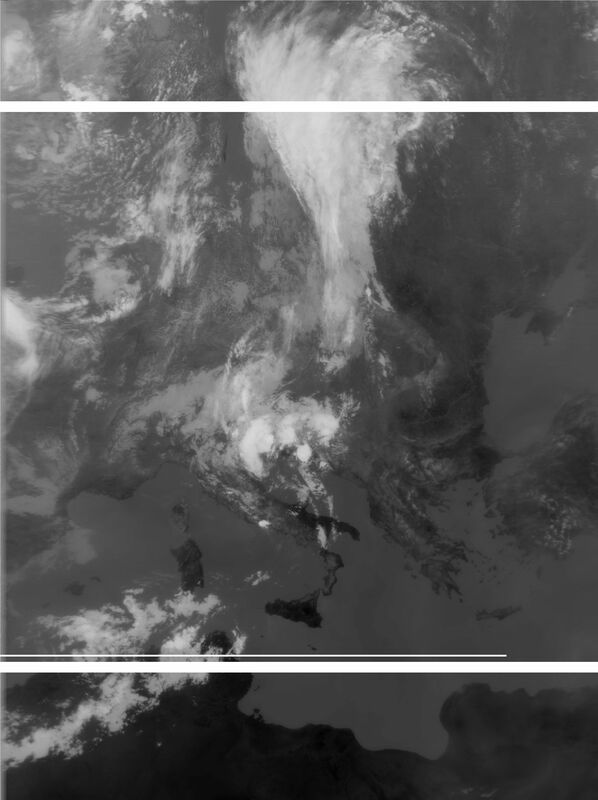 64 = 0.5...0.7um, 65 = 0.7...1.1um, 66 = 1.6...1.8um, 67 = 3.5...4.1um, 68 = 10.5...11.5um, 69 = 11.5...12.5um. 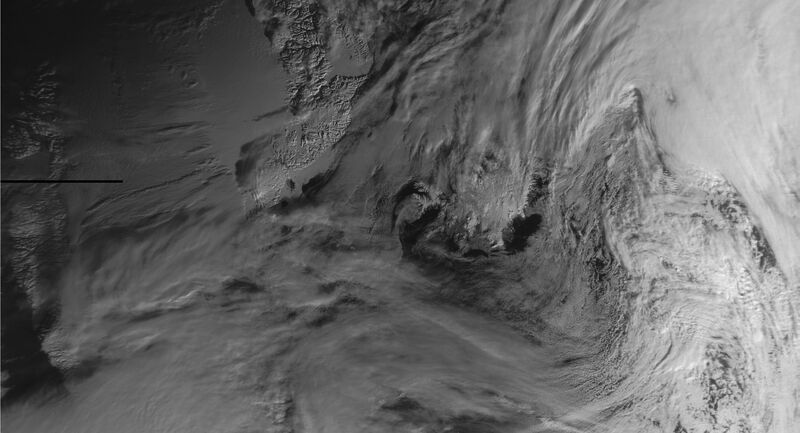 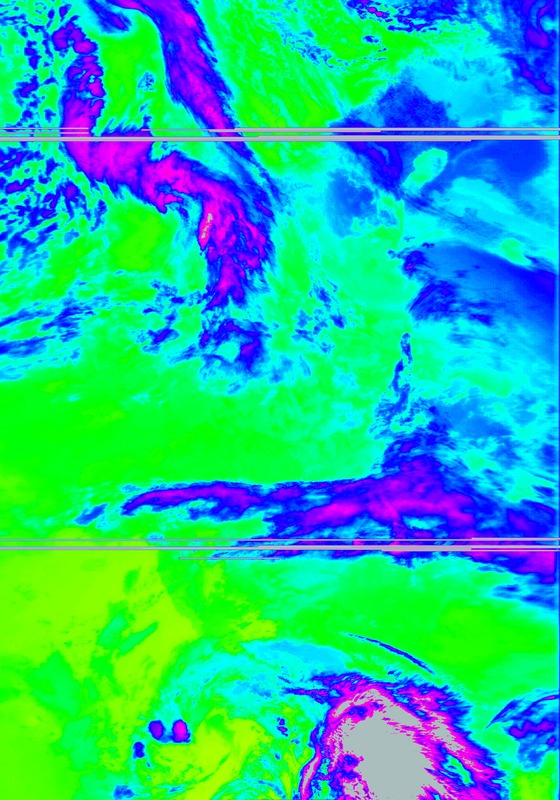 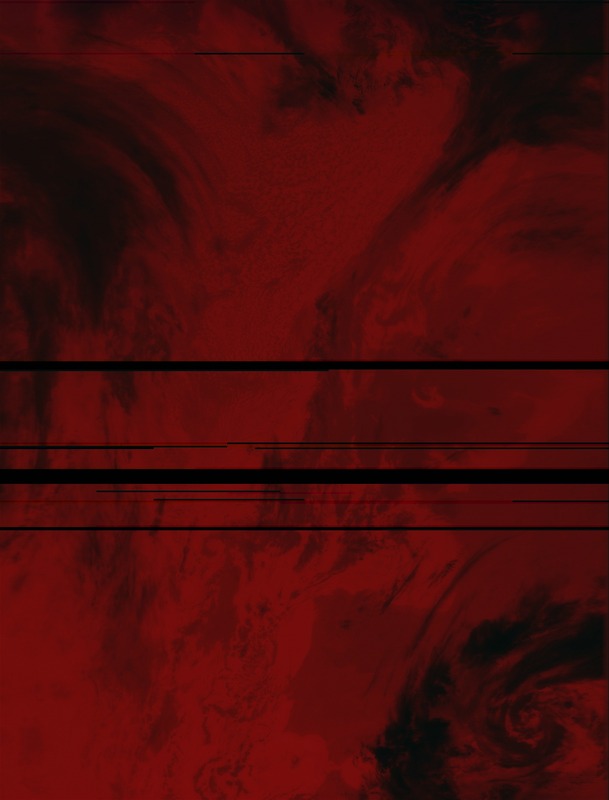 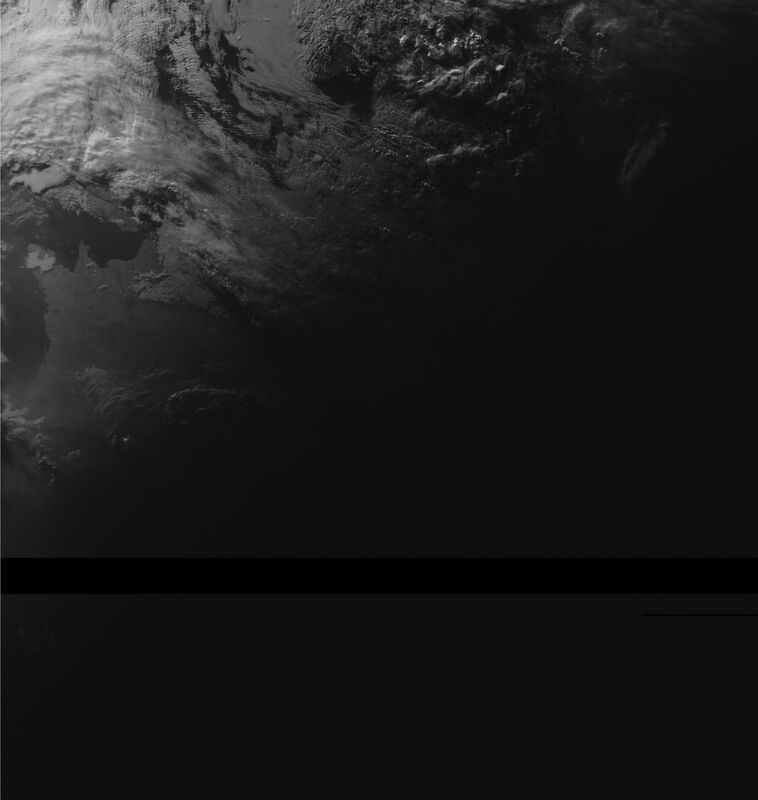 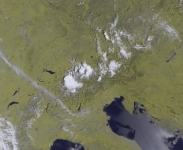 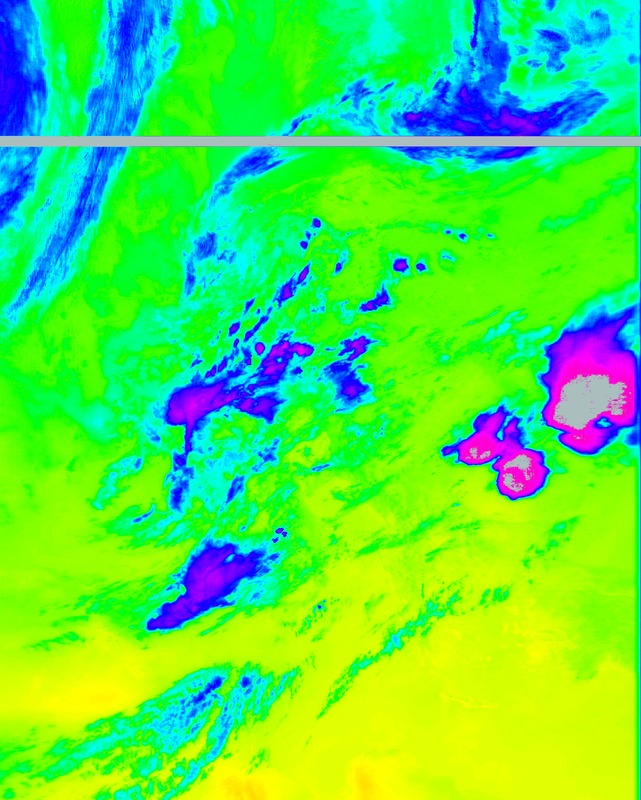 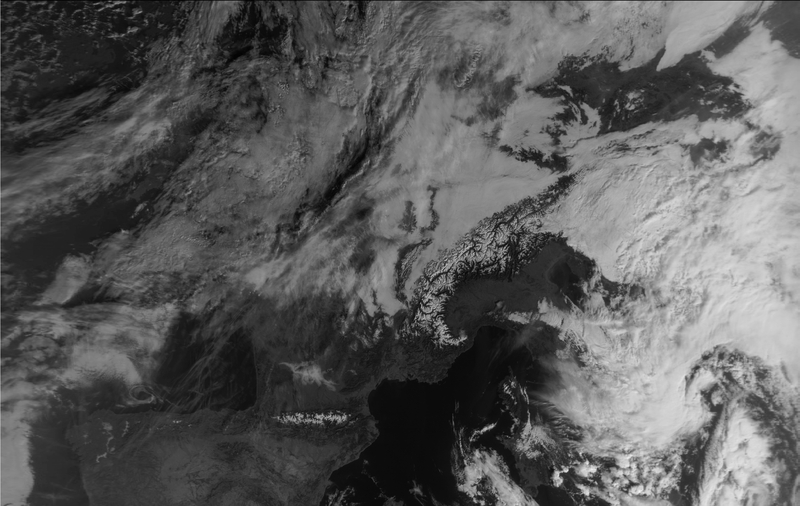 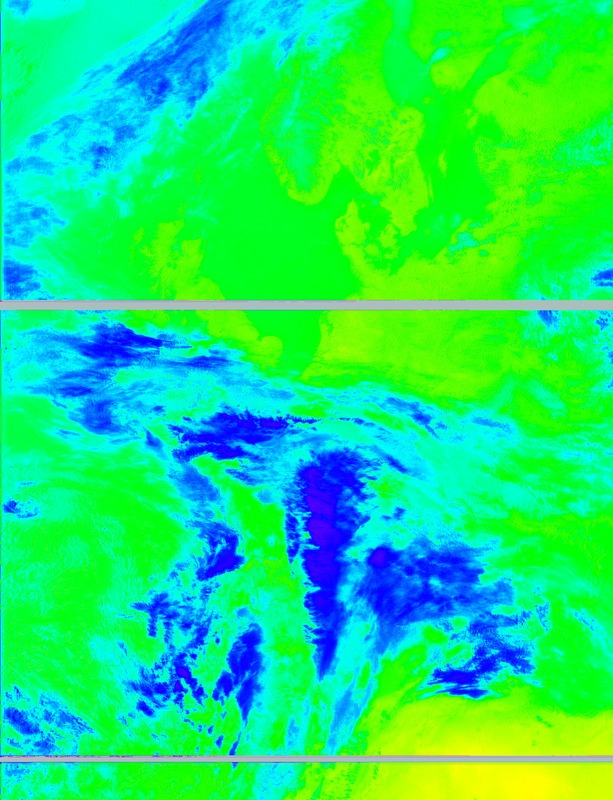 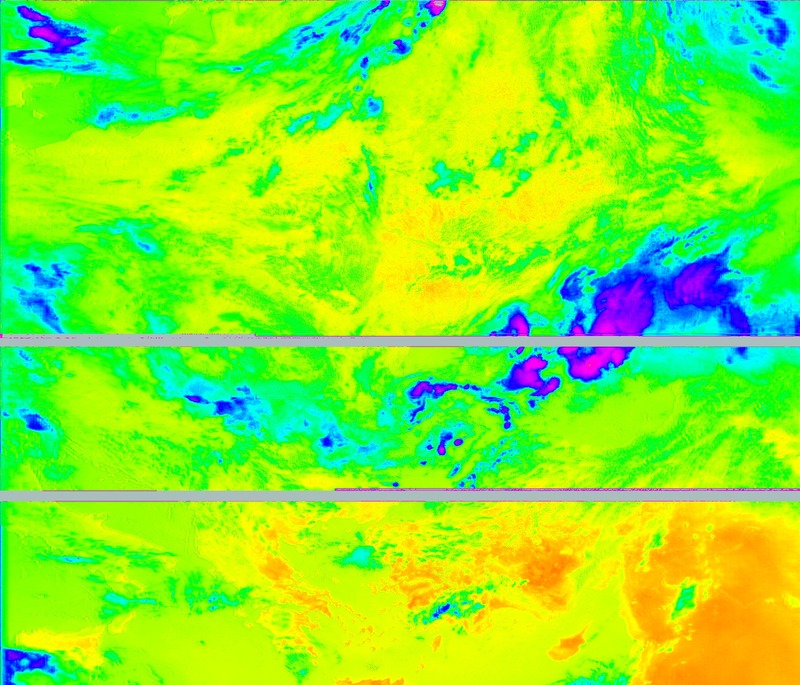 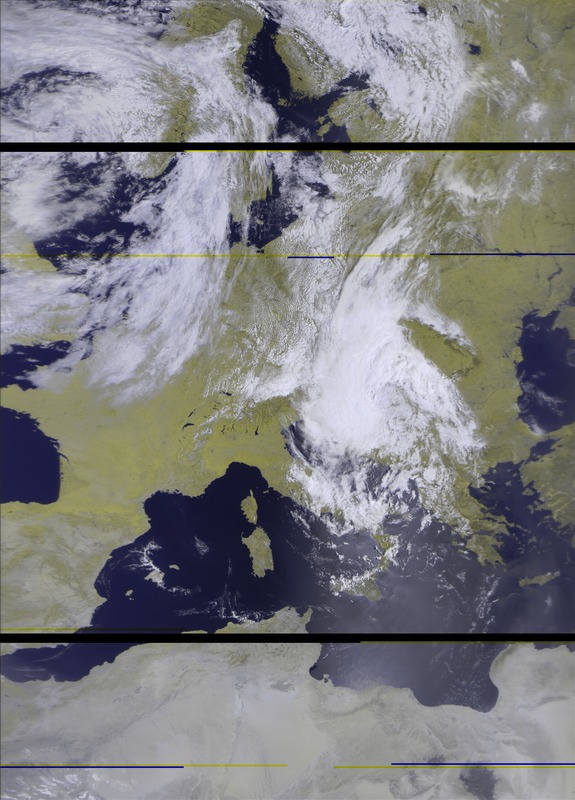 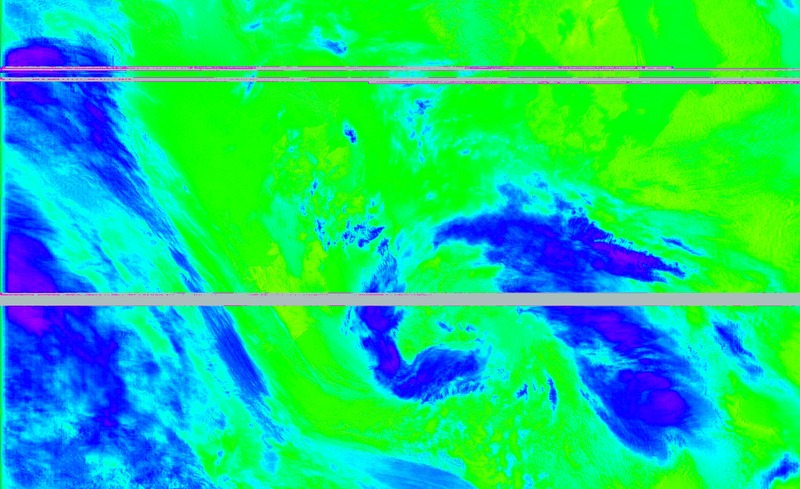 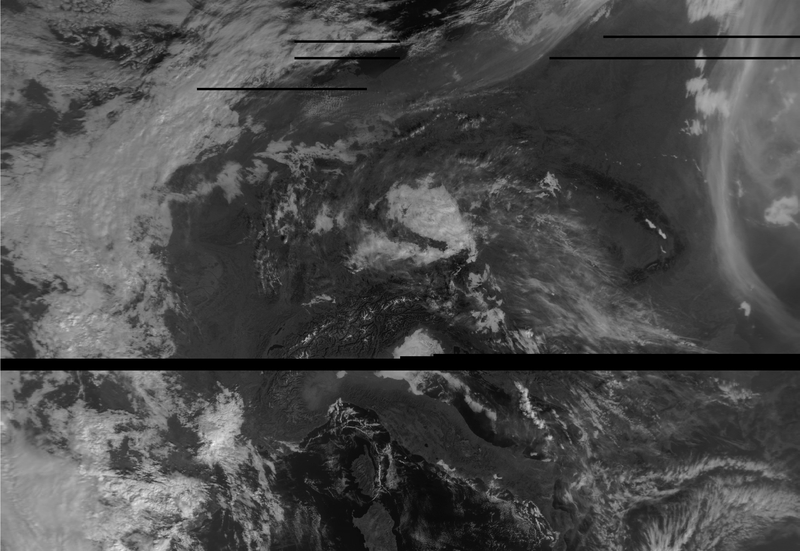 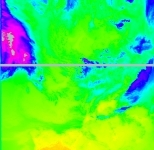 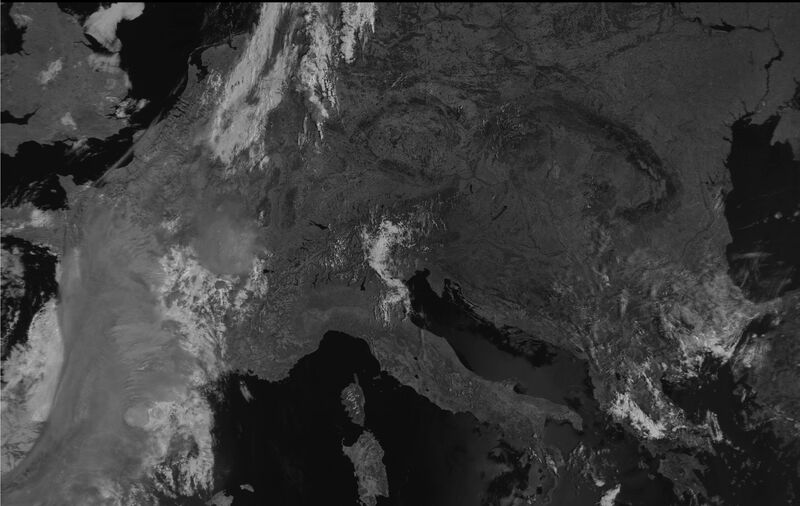 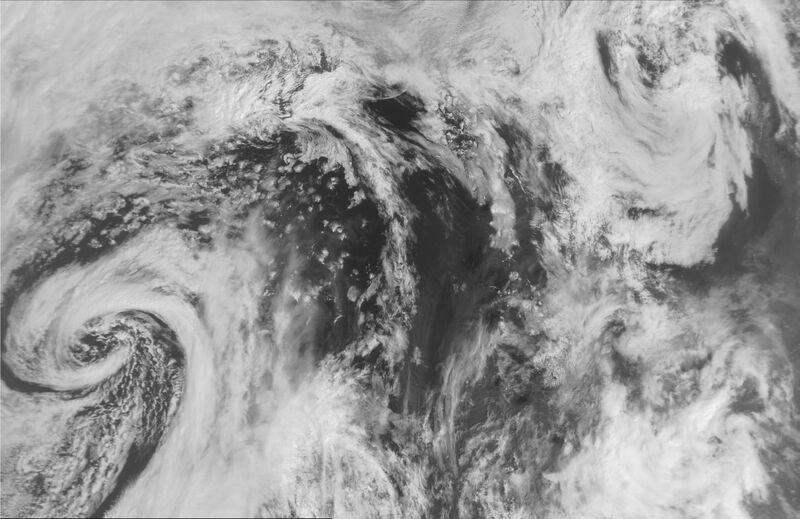 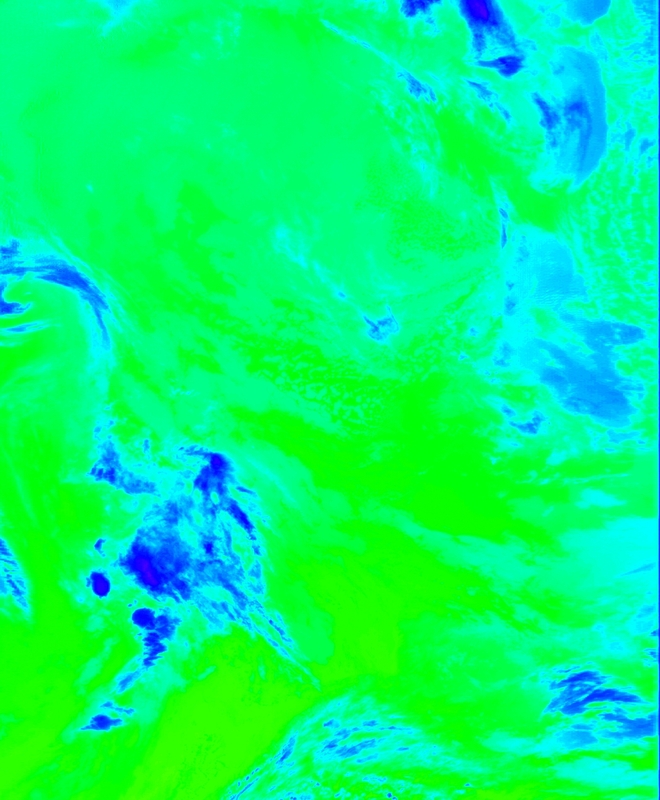 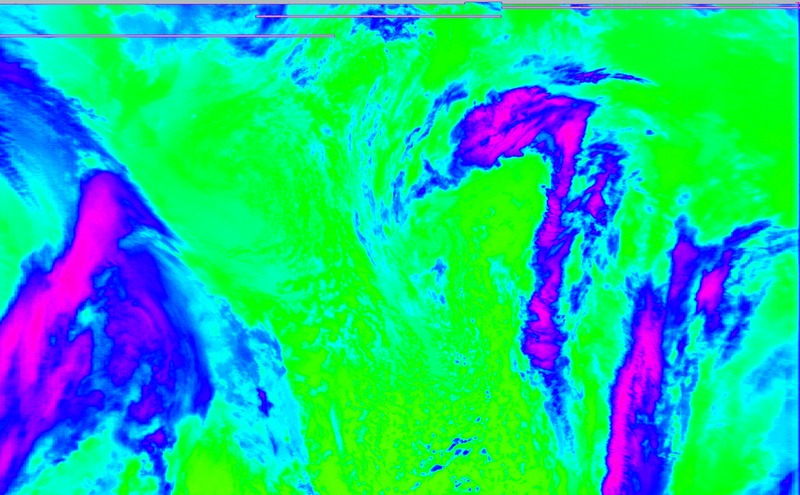 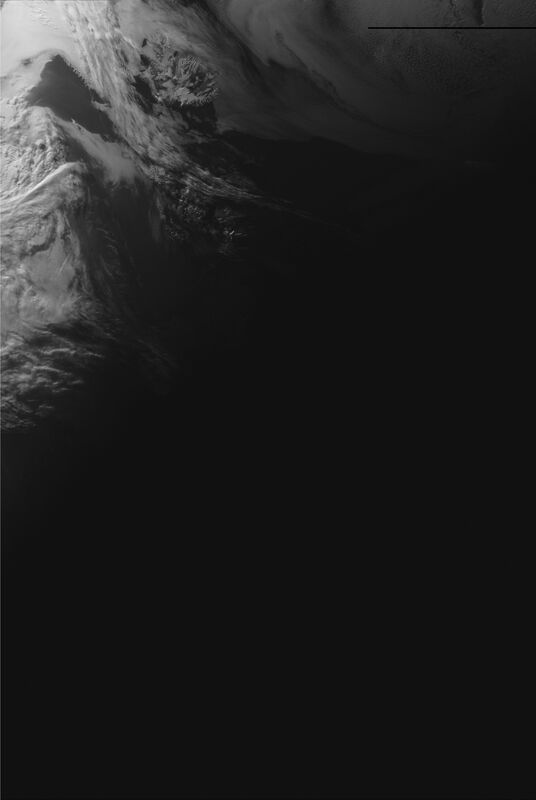 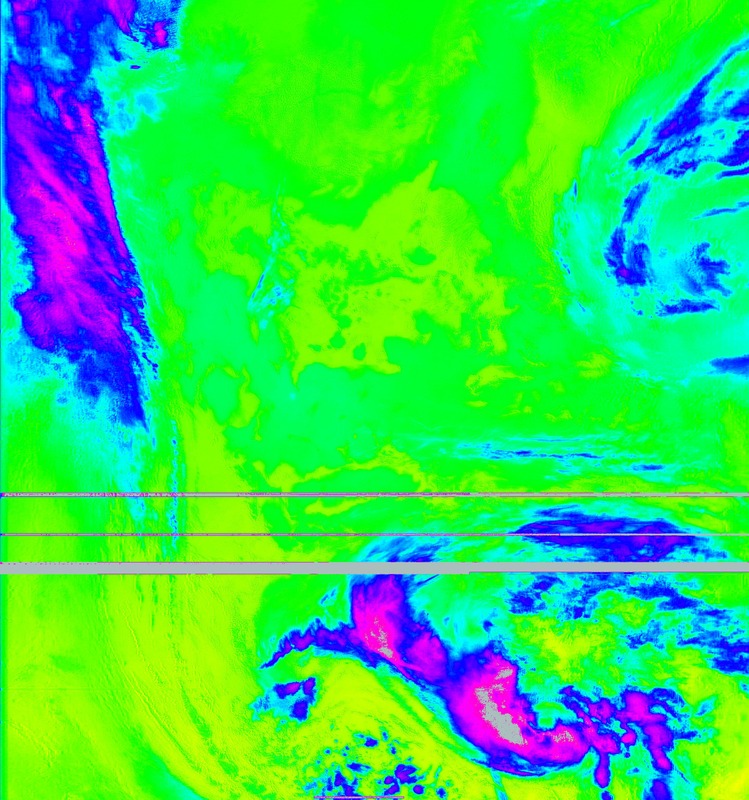 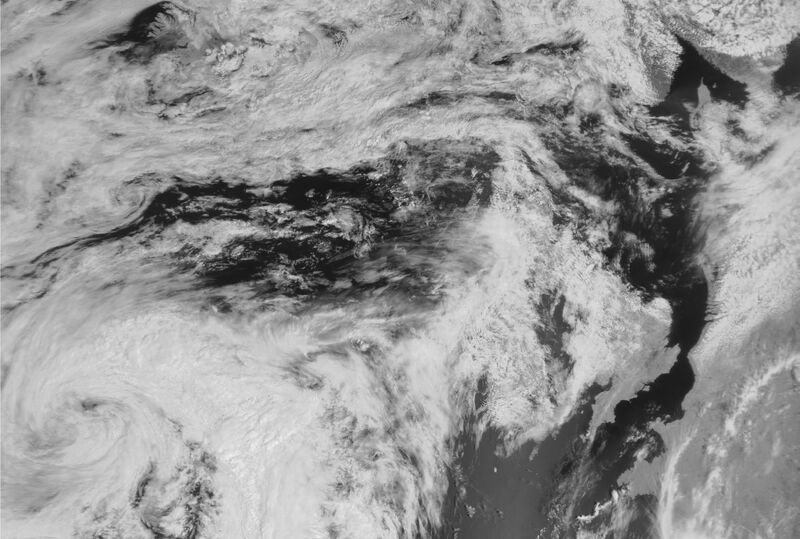 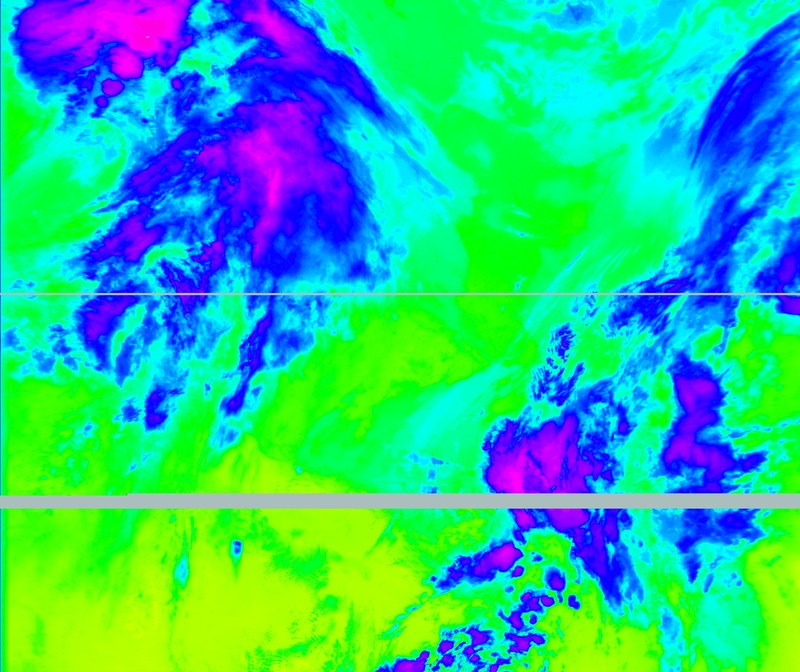 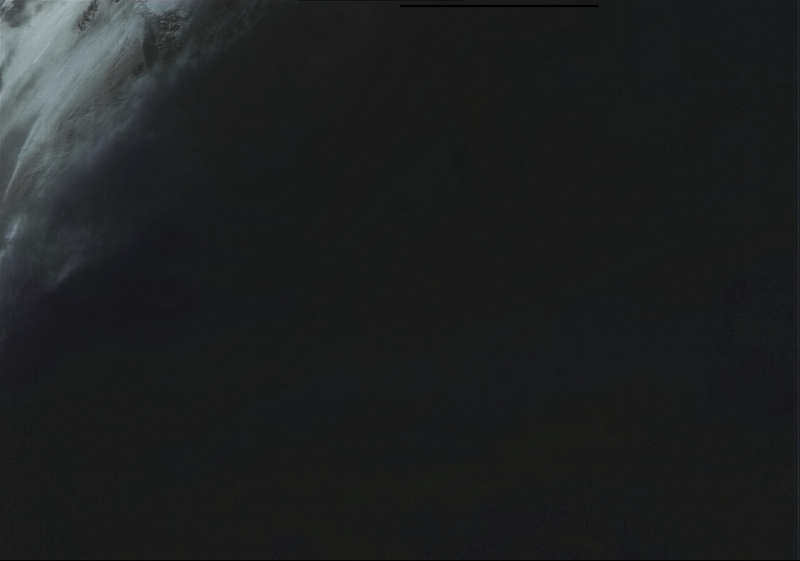 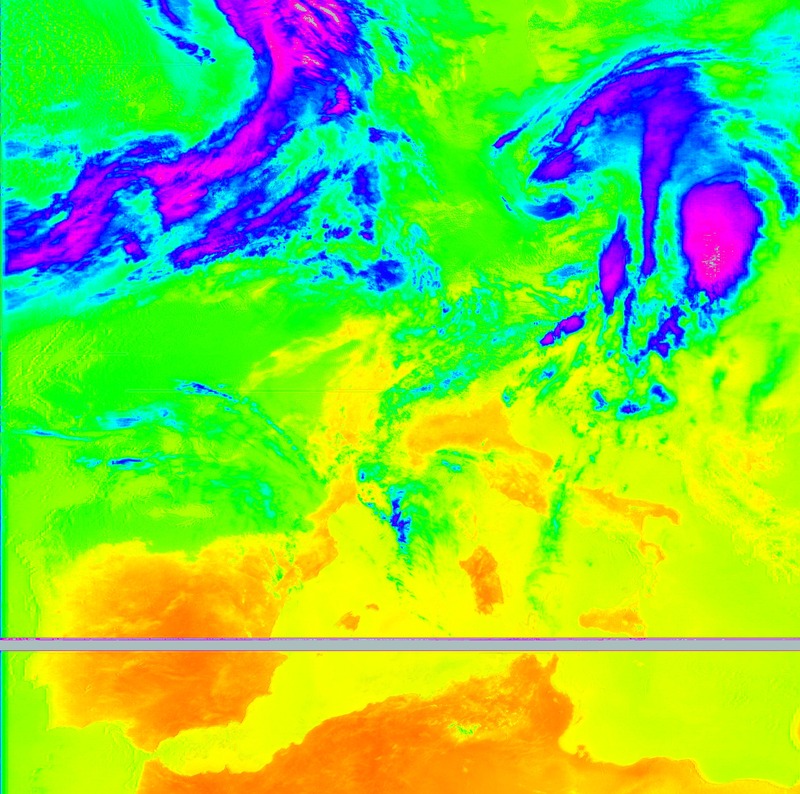 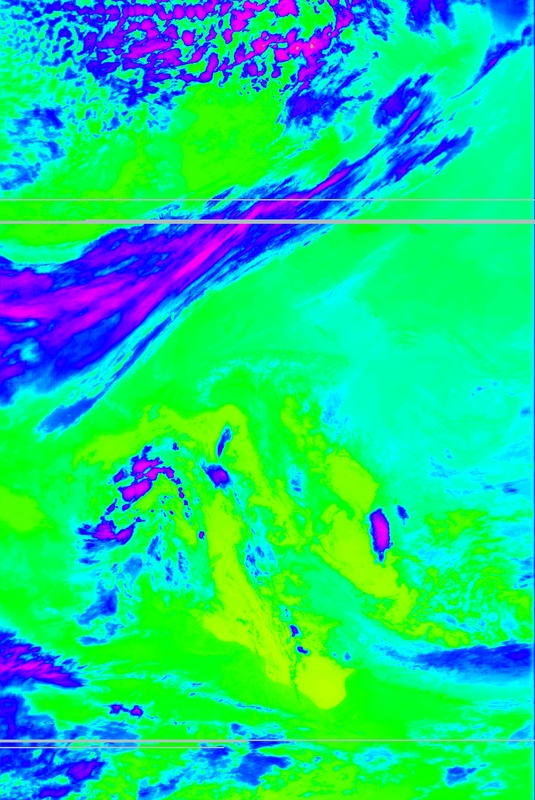 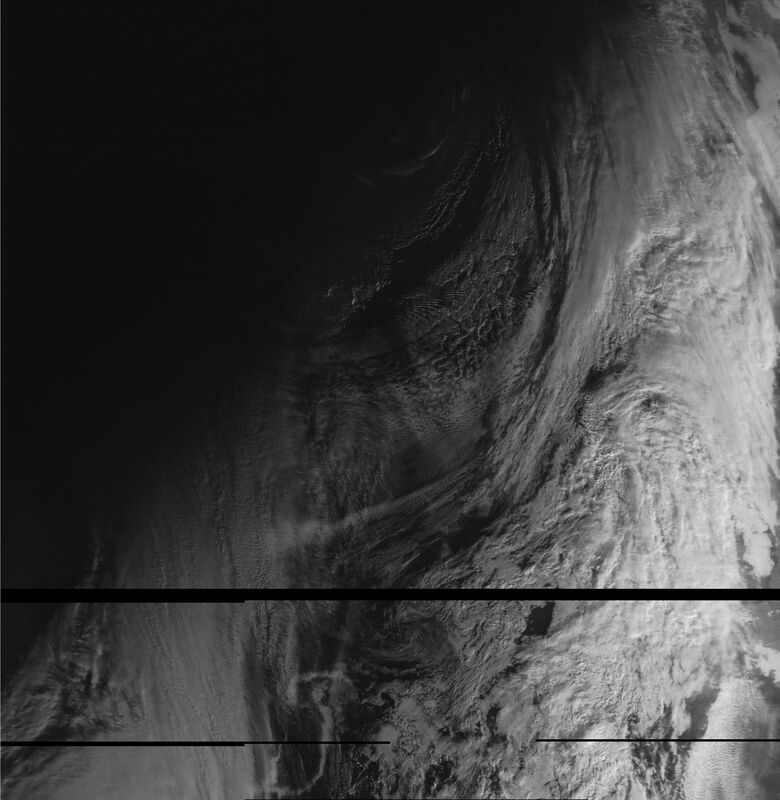 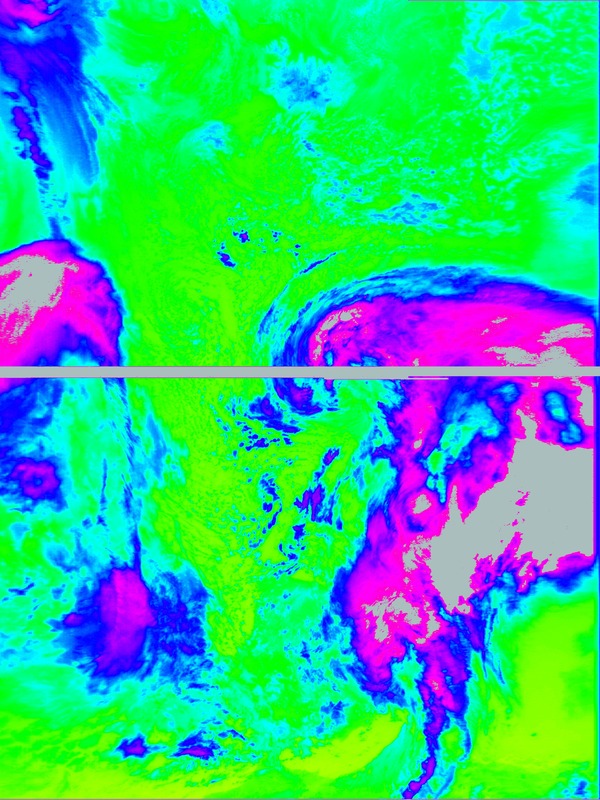 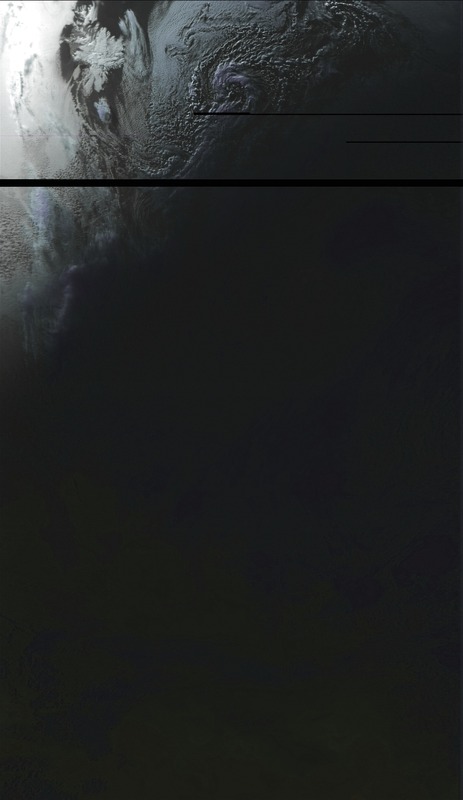 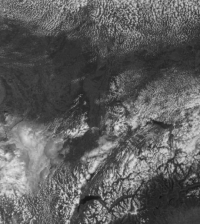 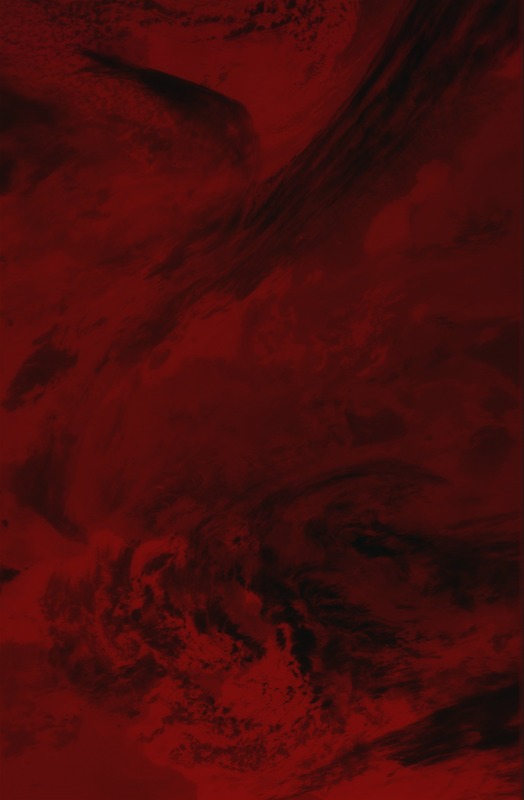 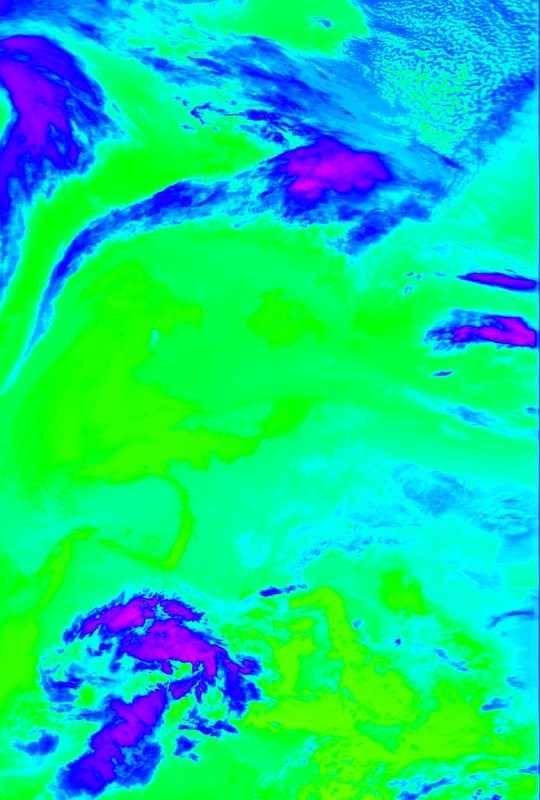 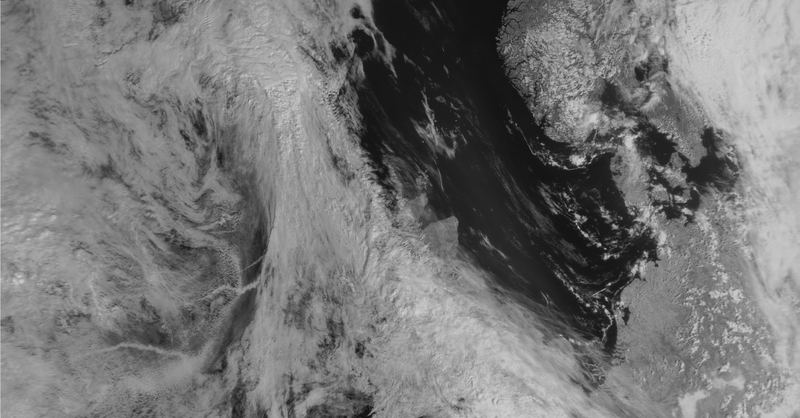 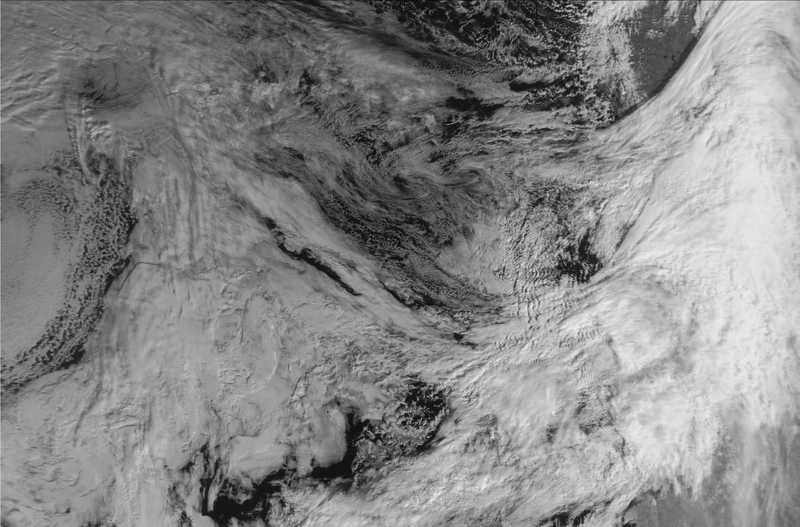 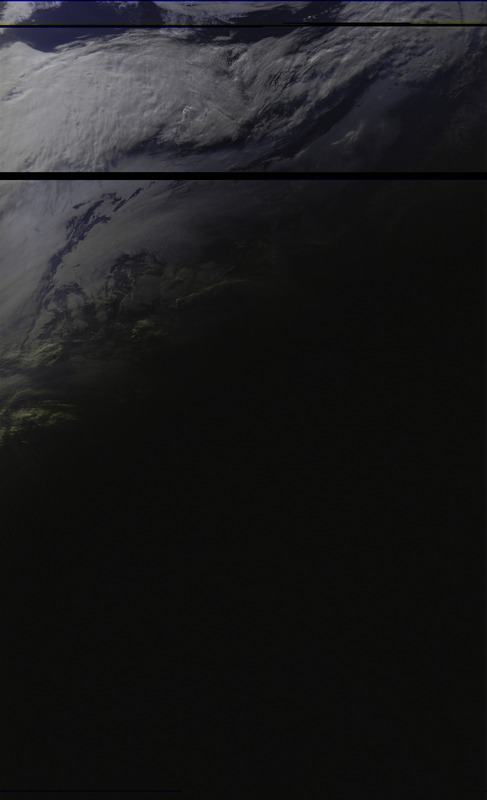 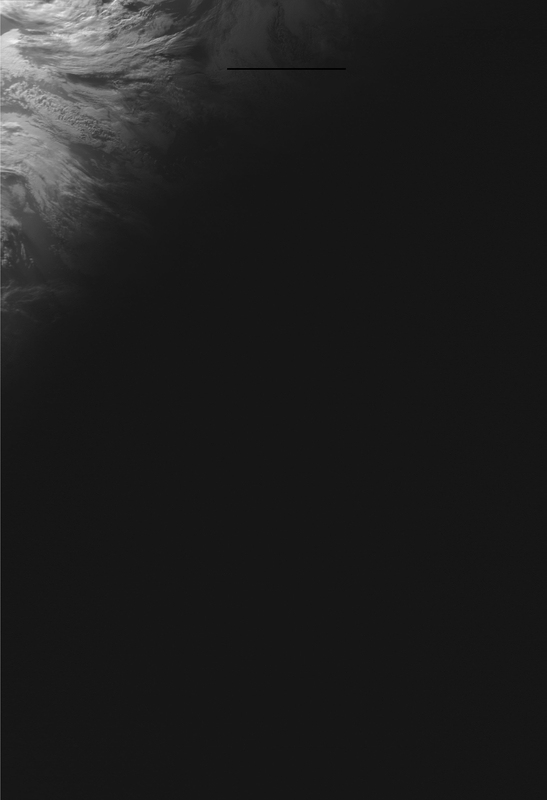 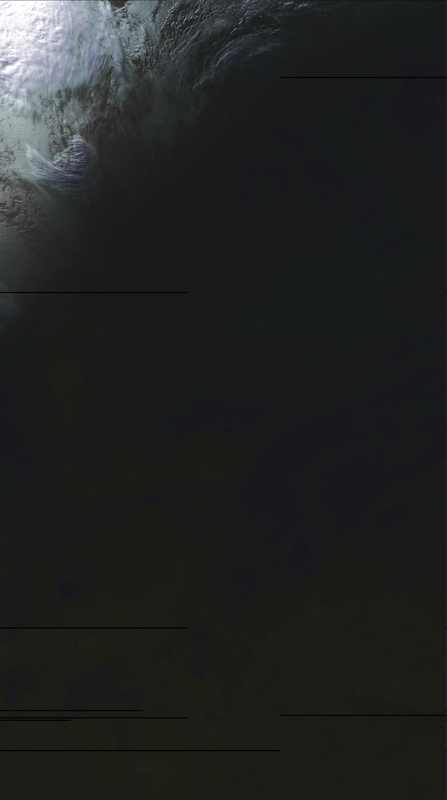 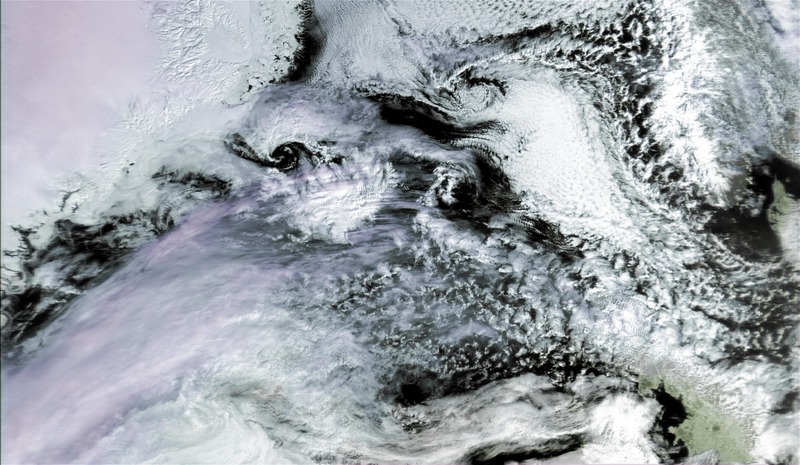 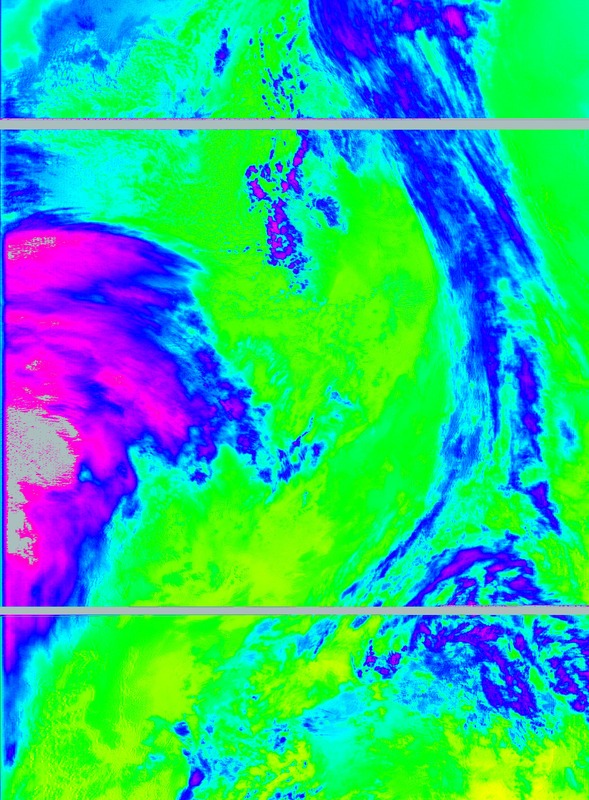 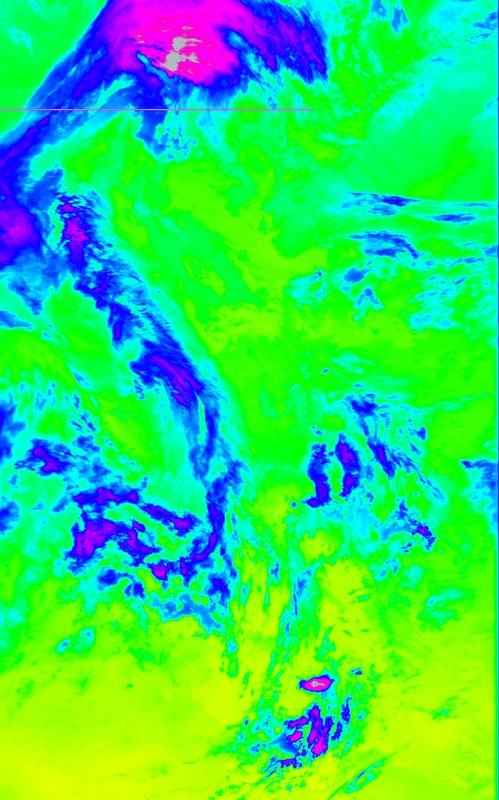 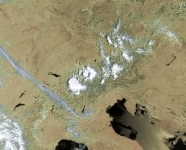 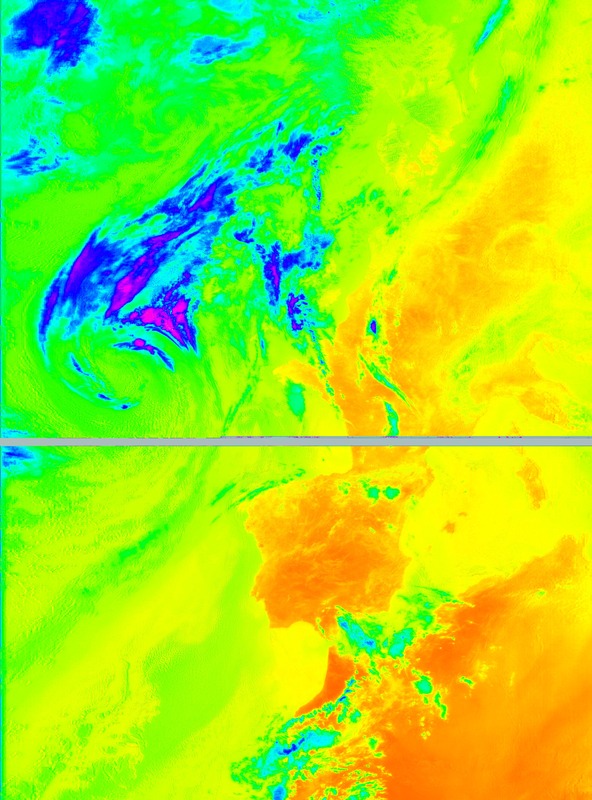 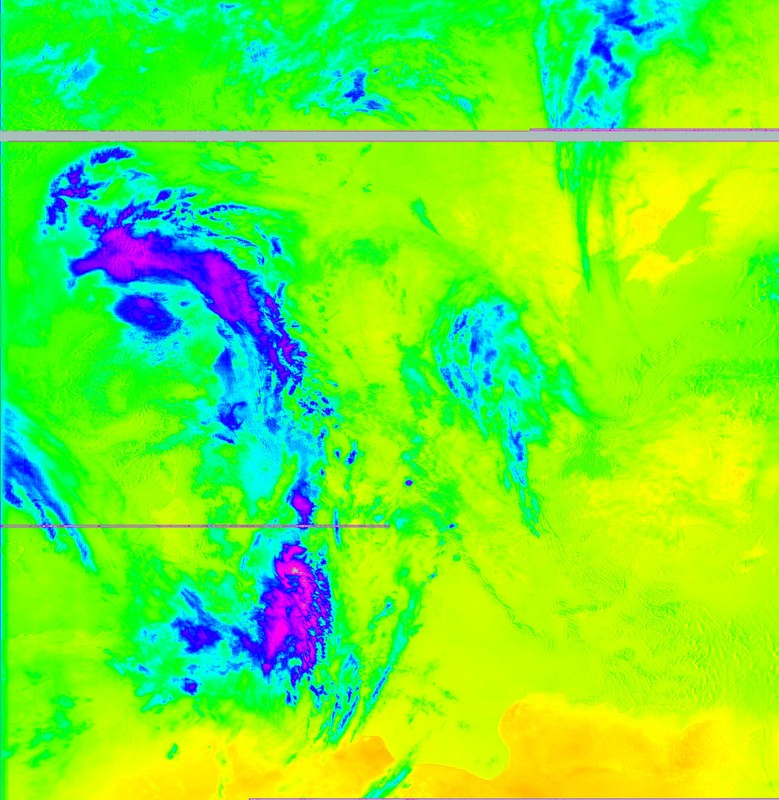 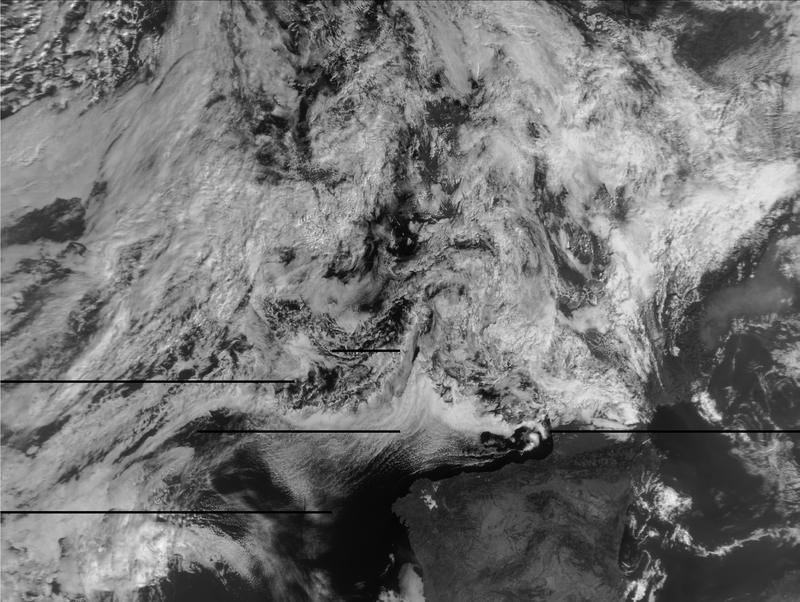 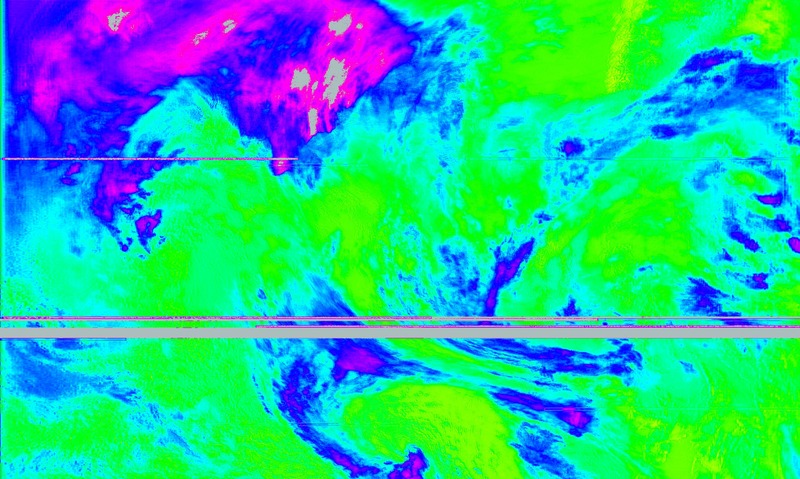 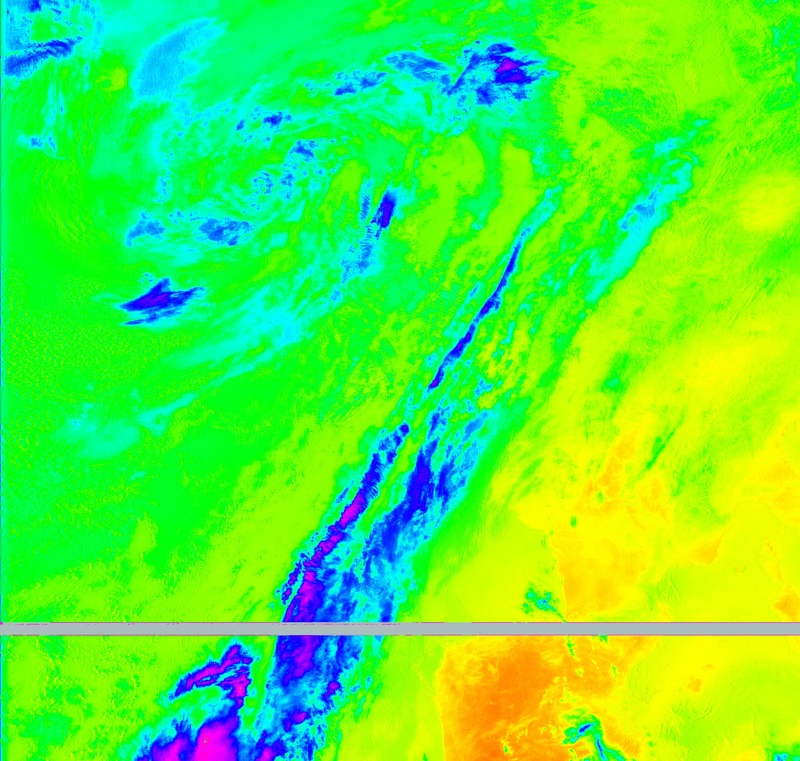 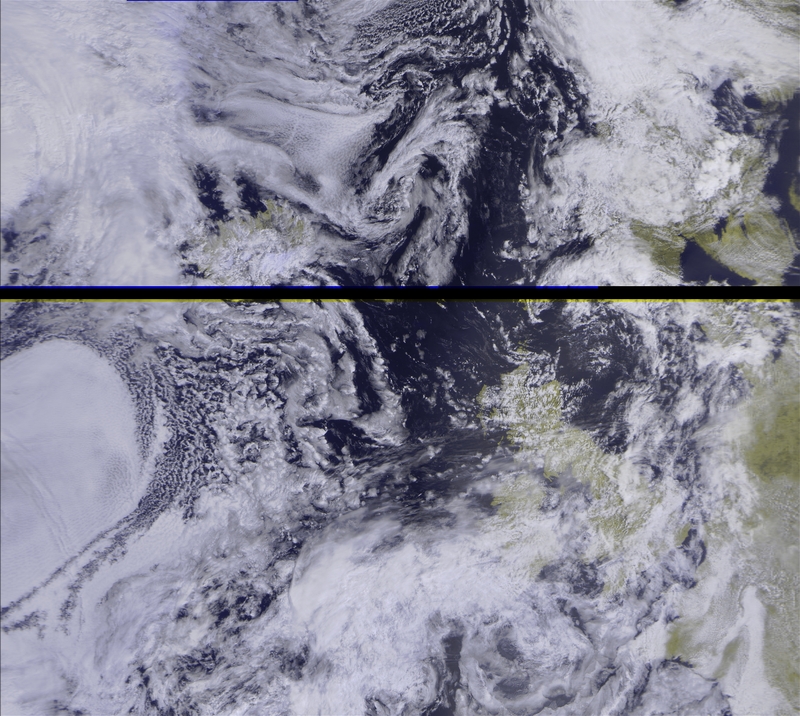 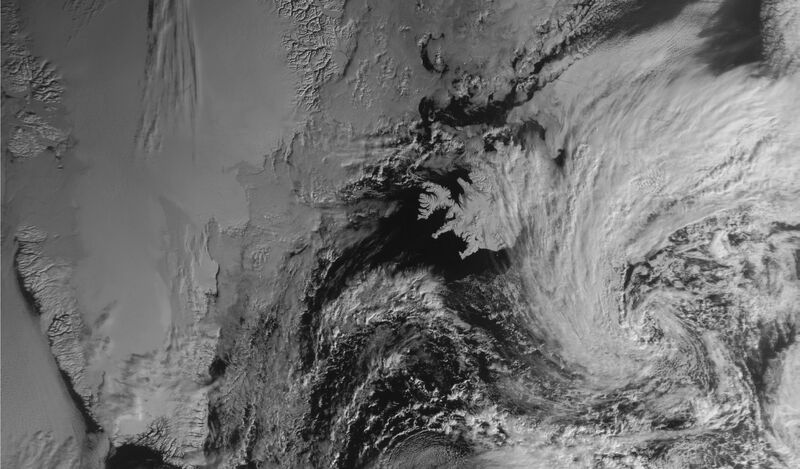 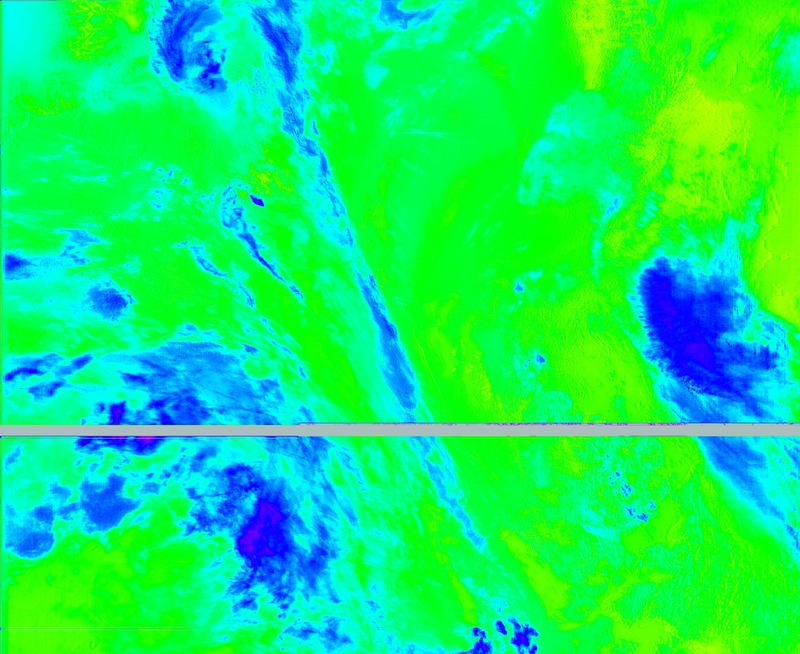 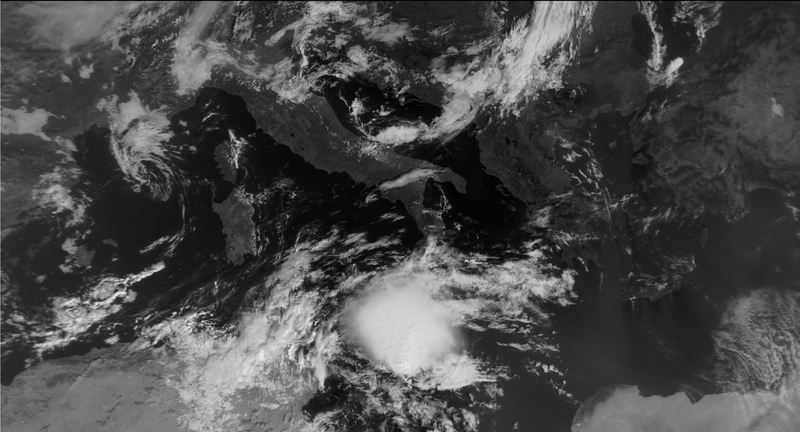 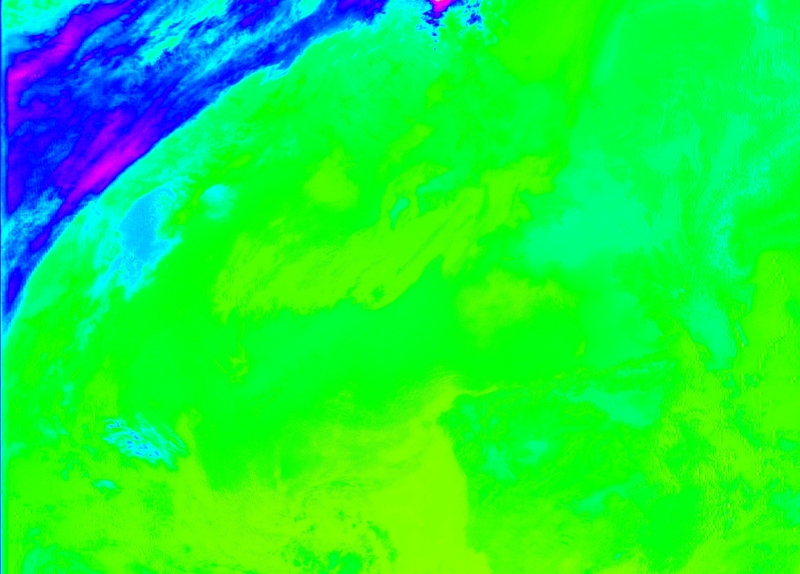 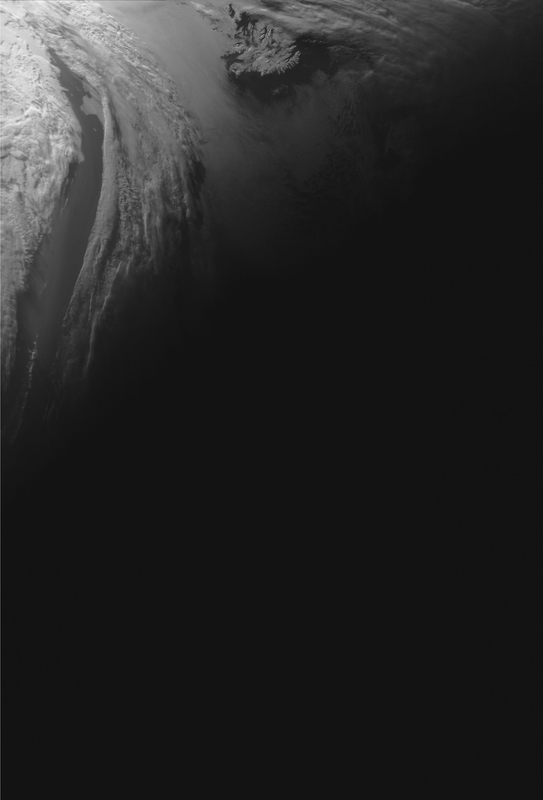 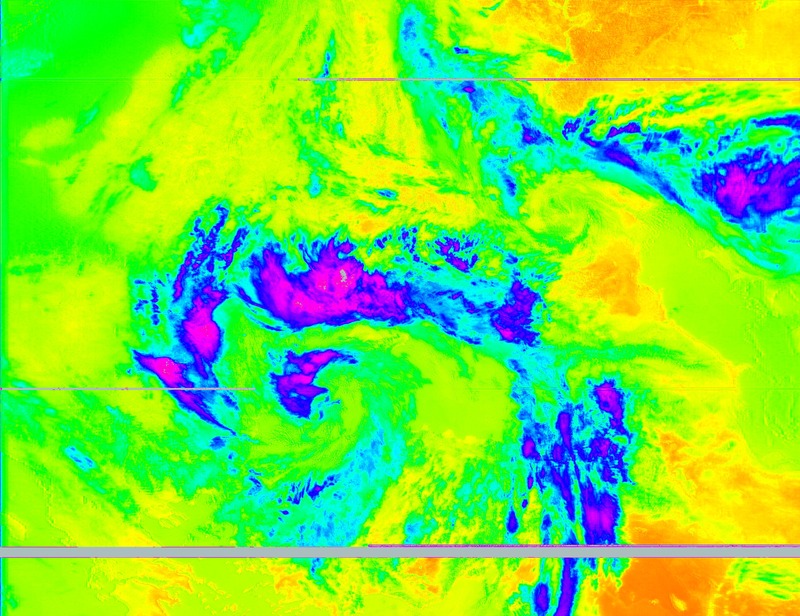 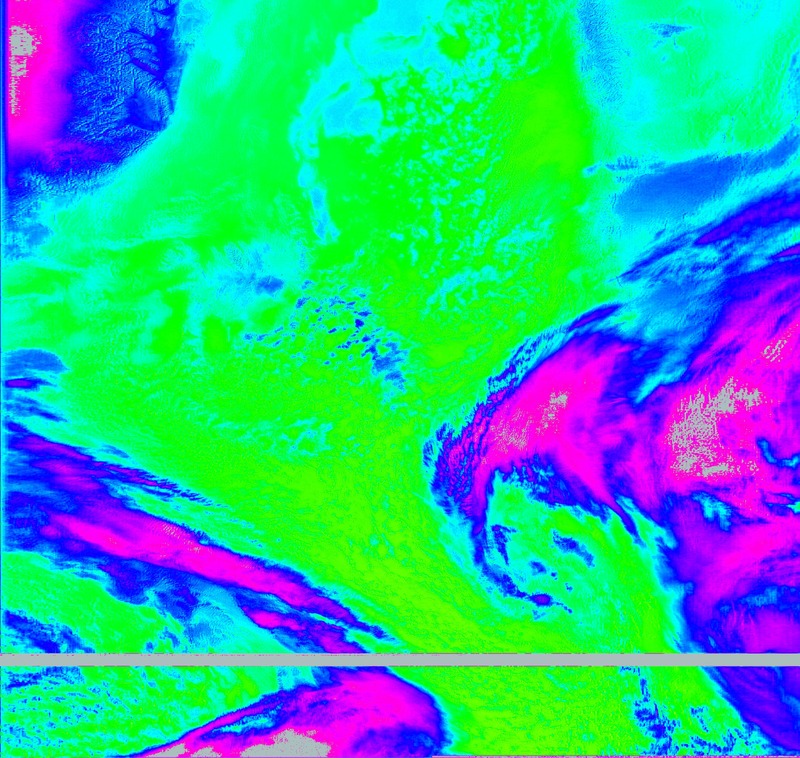 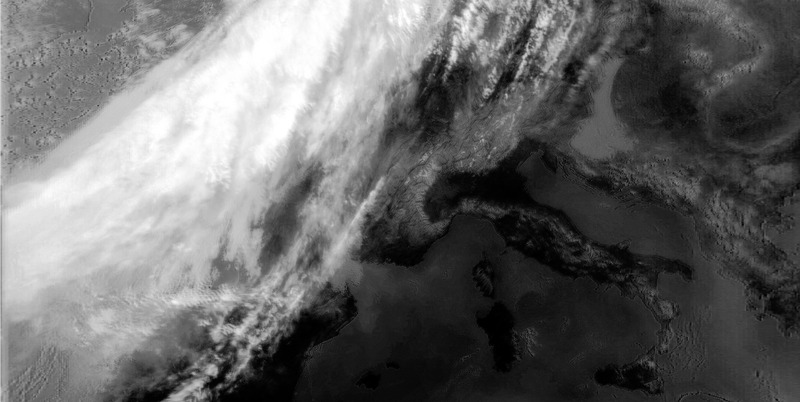 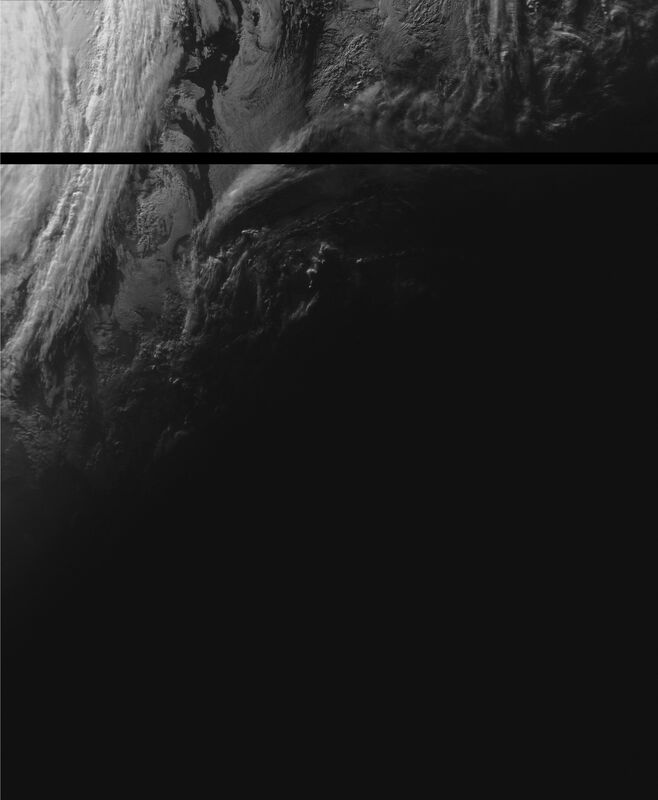 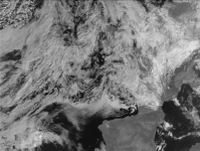 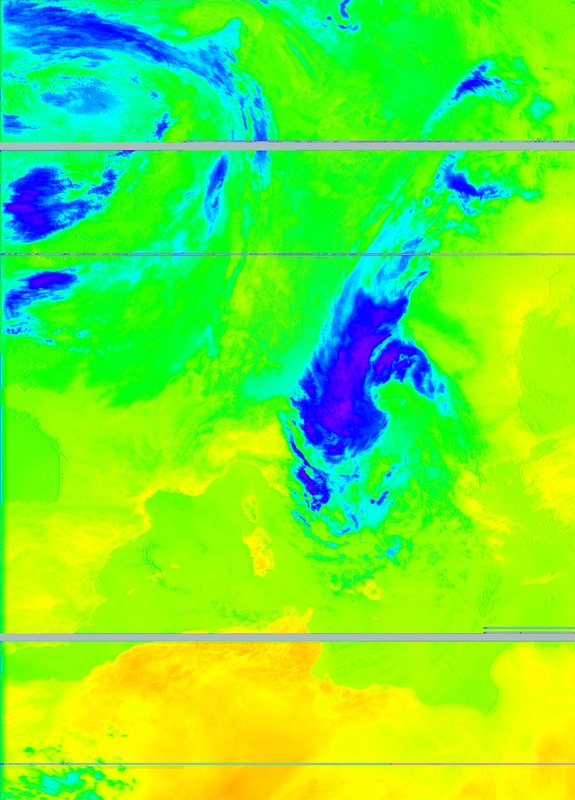 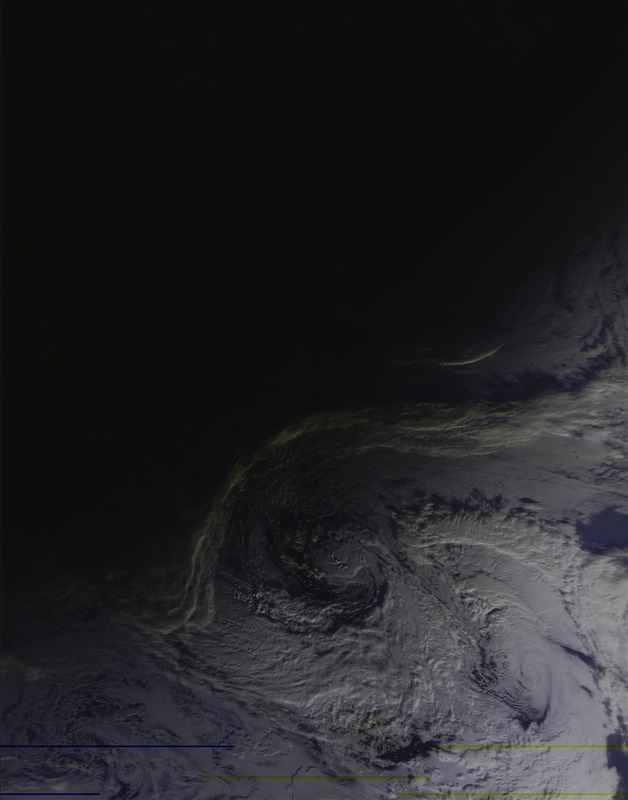 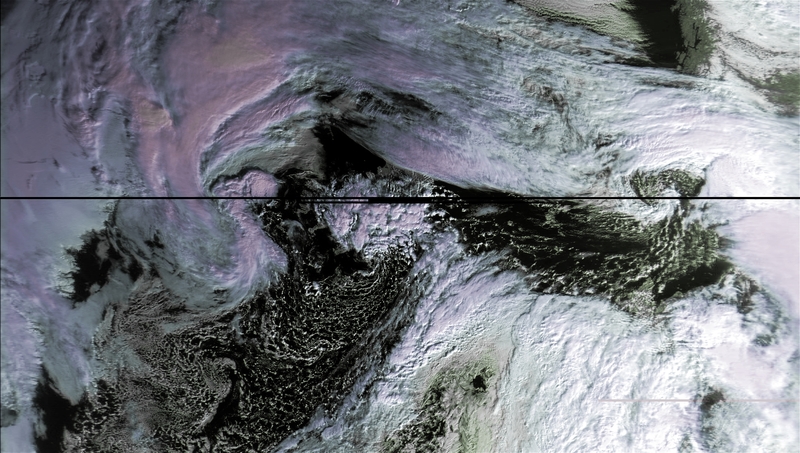 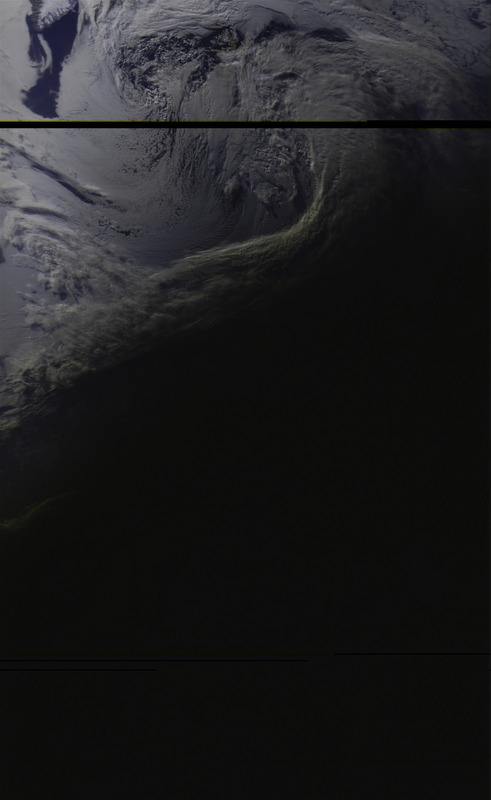 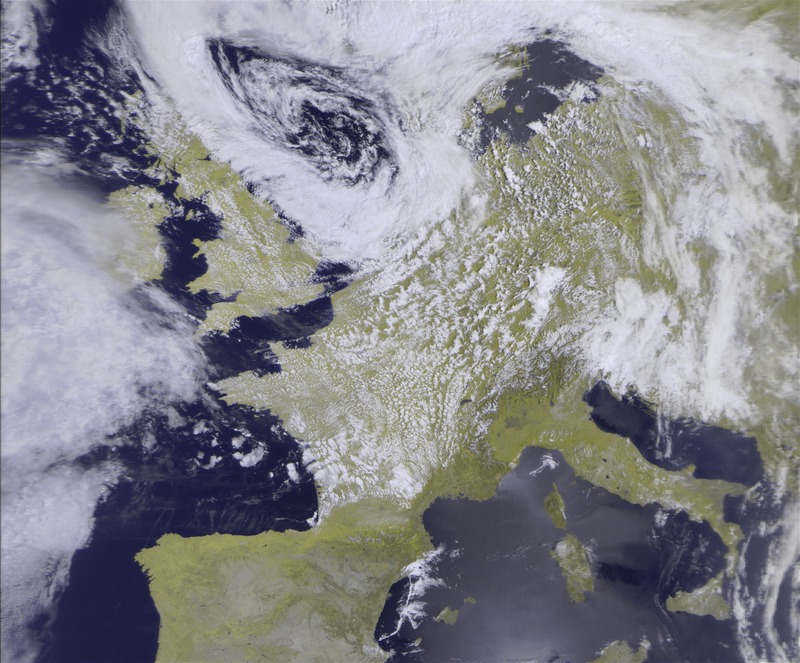 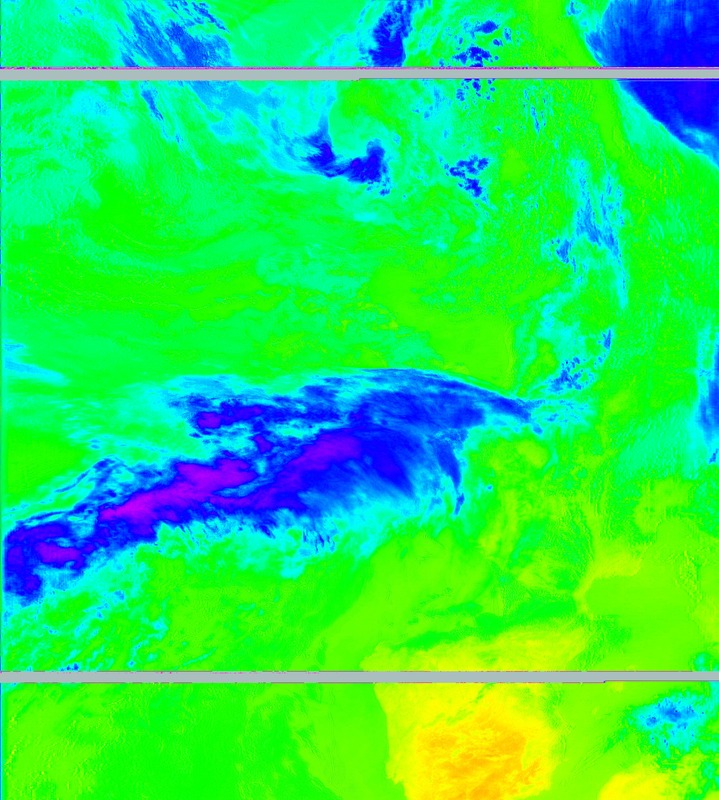 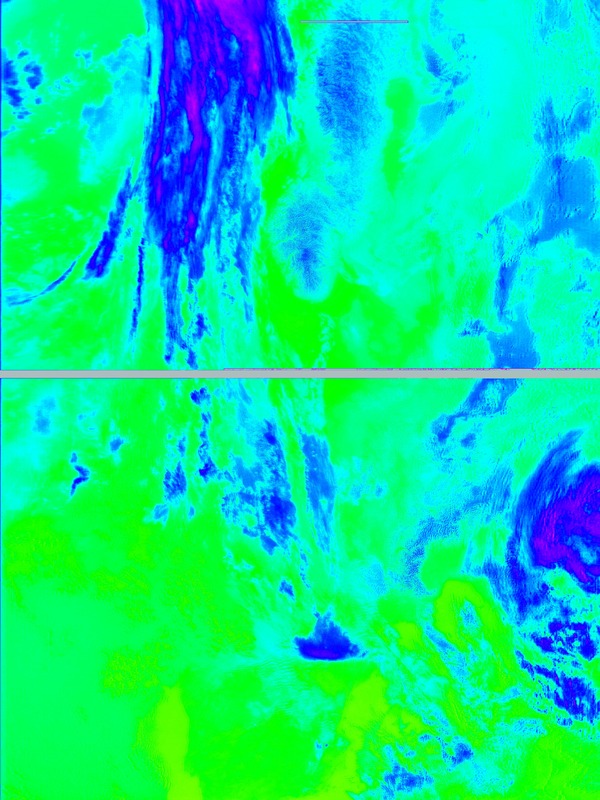 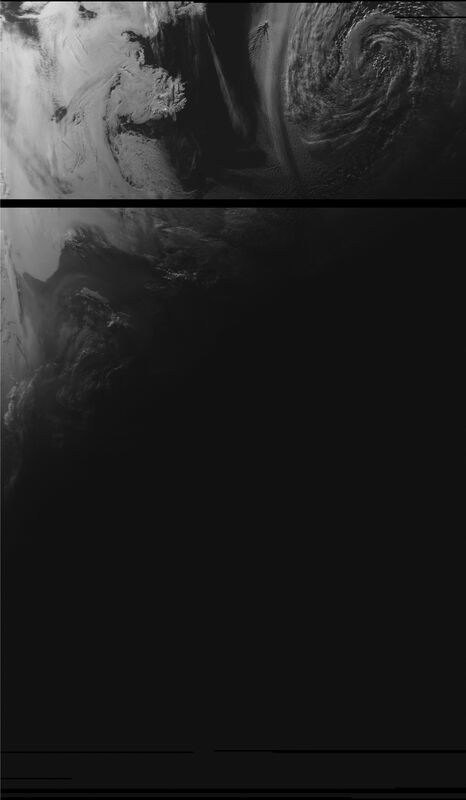 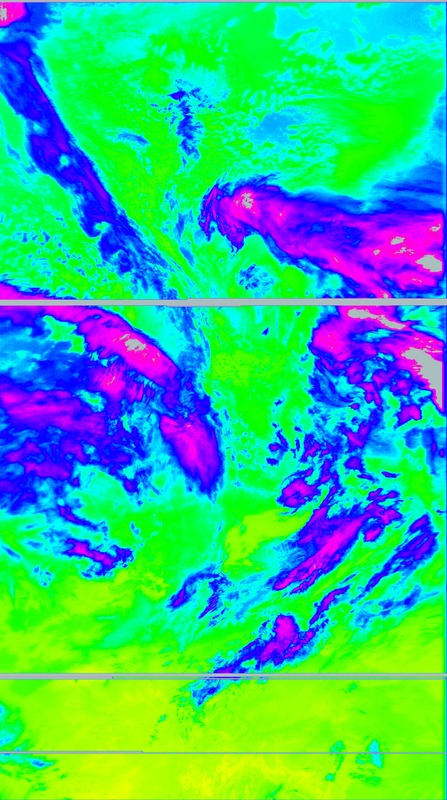 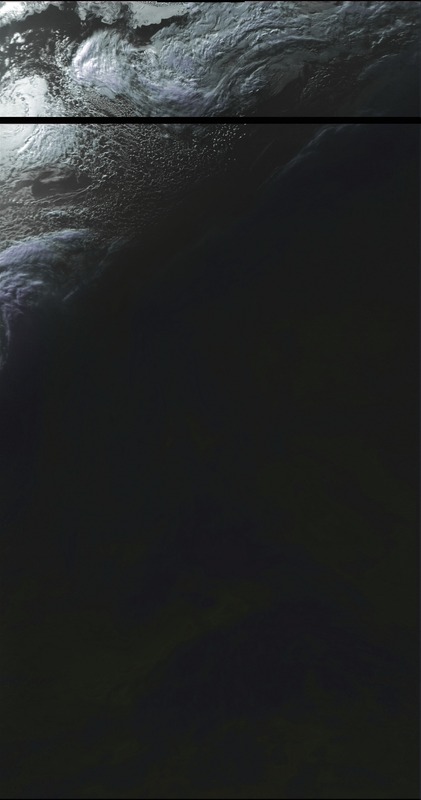 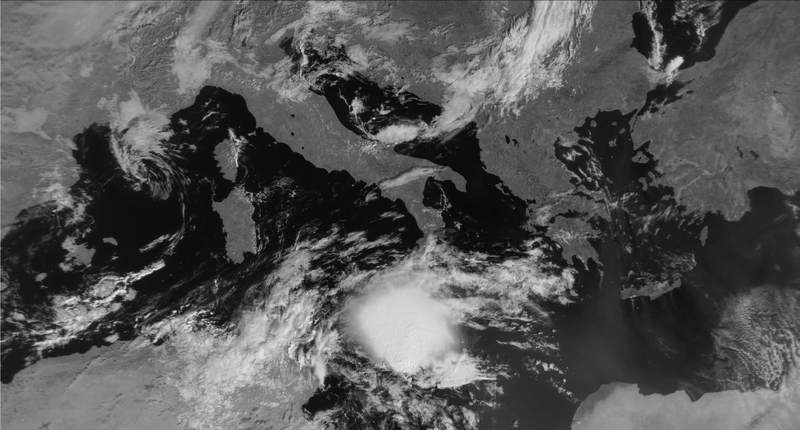 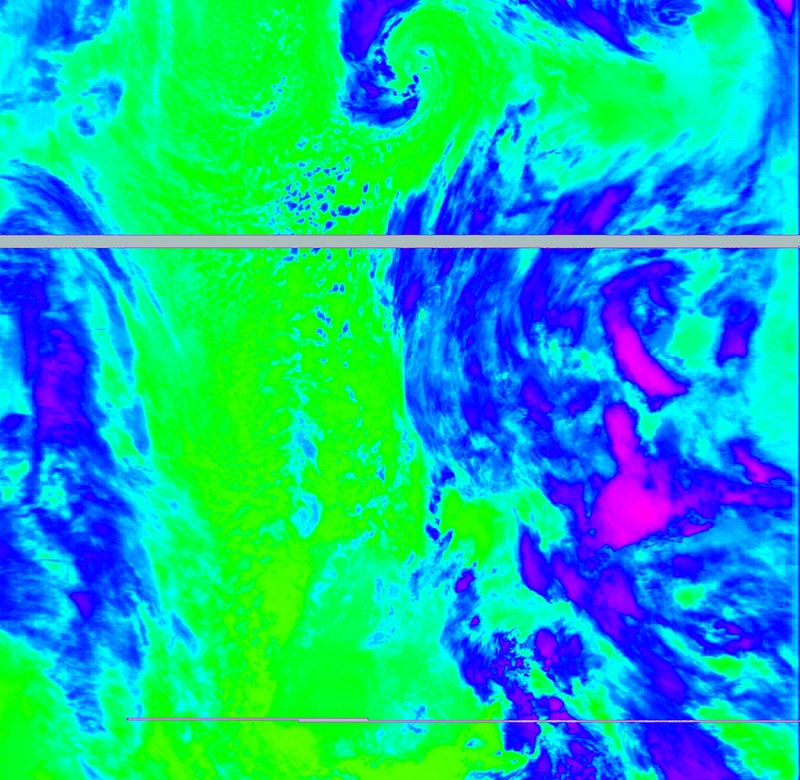 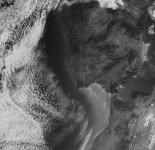 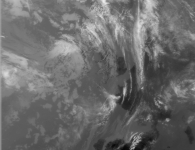 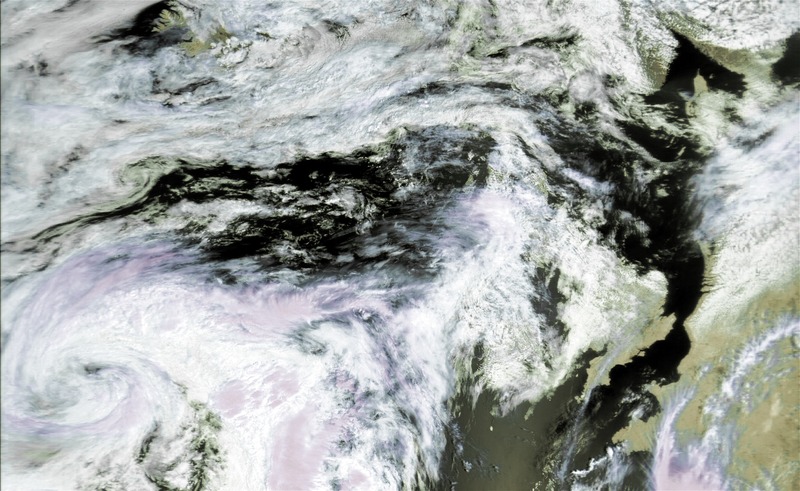 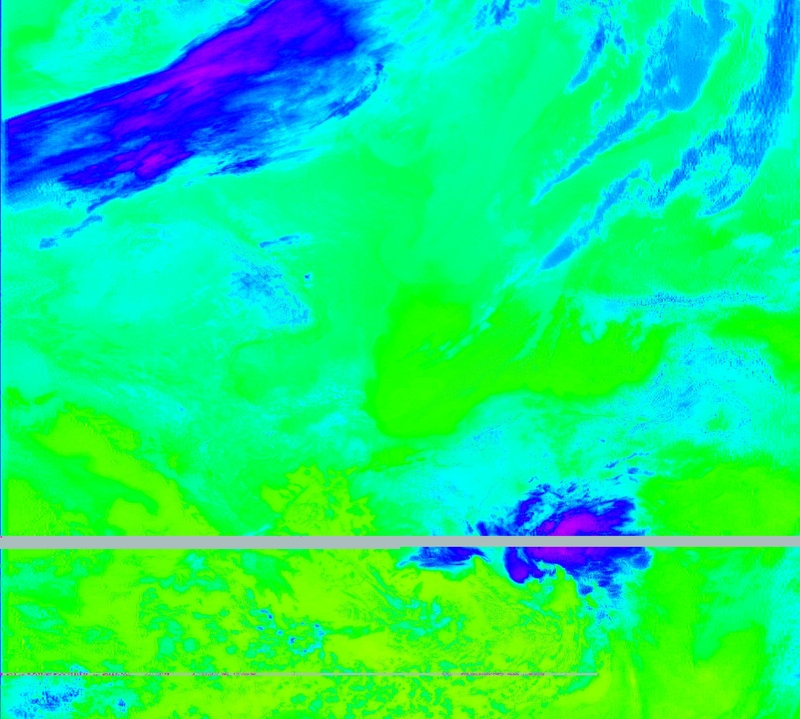 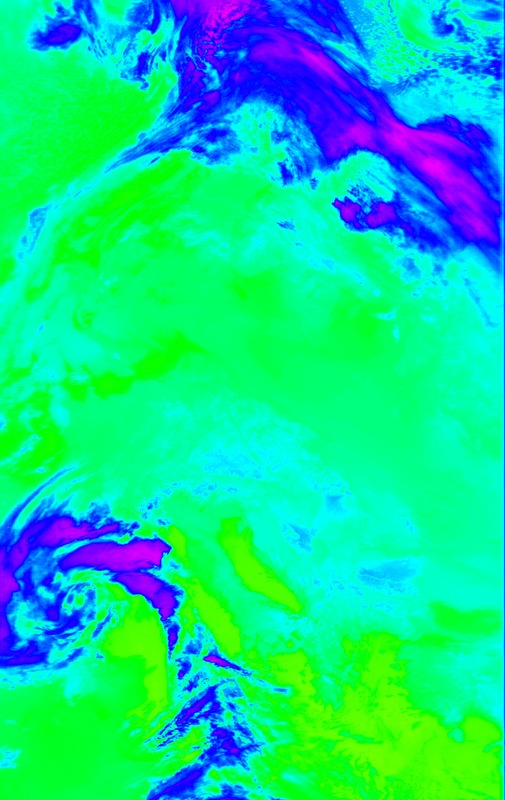 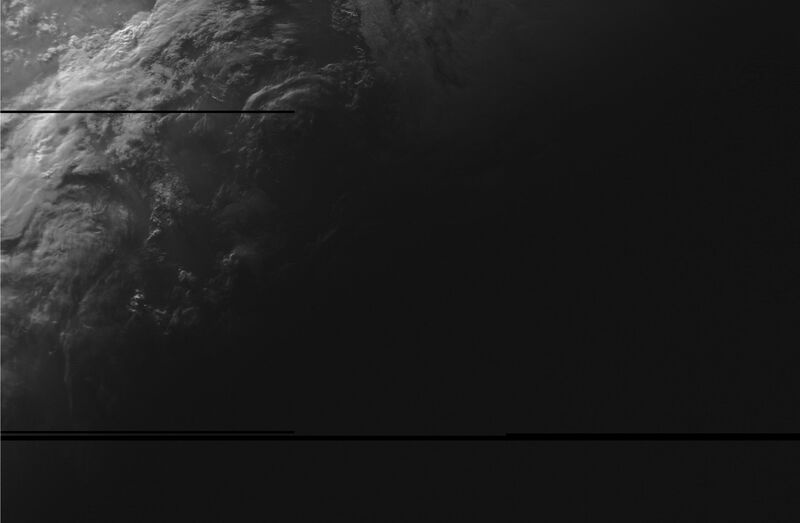 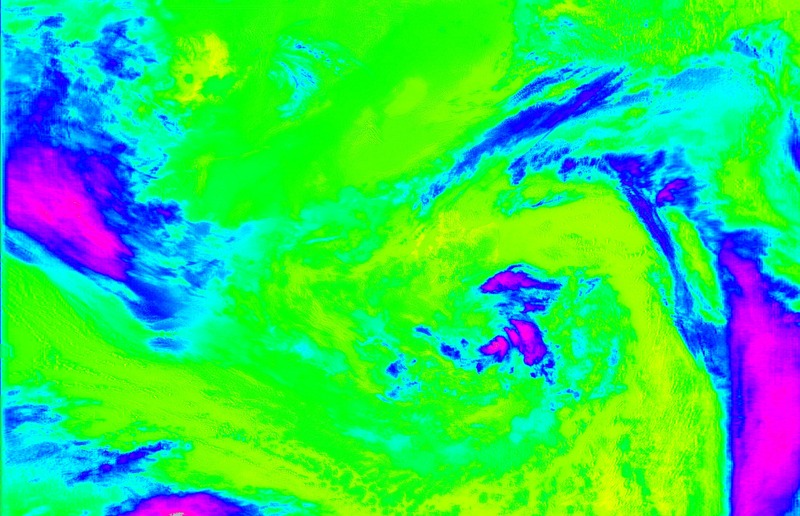 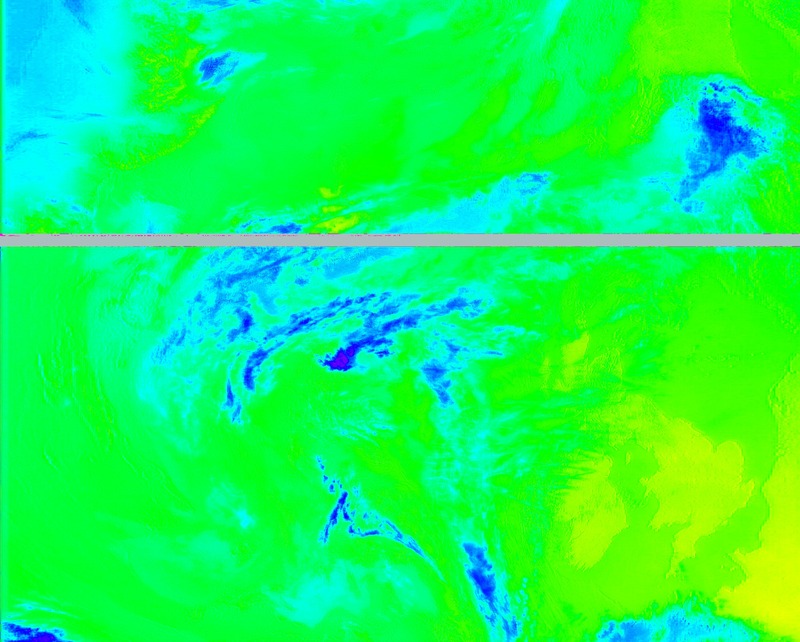 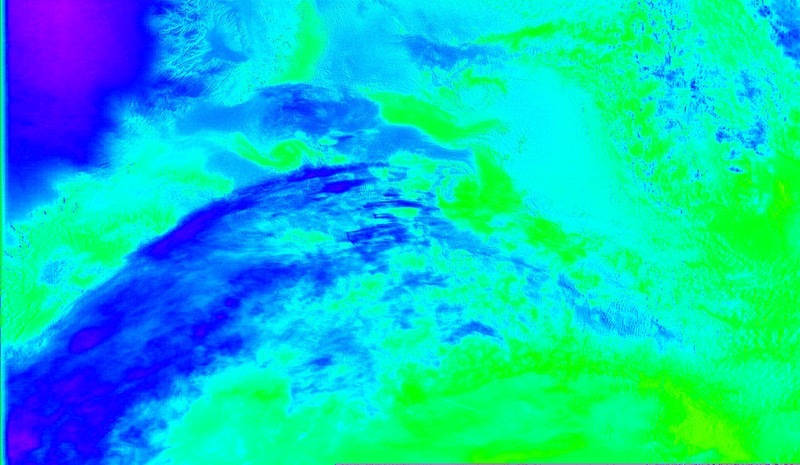 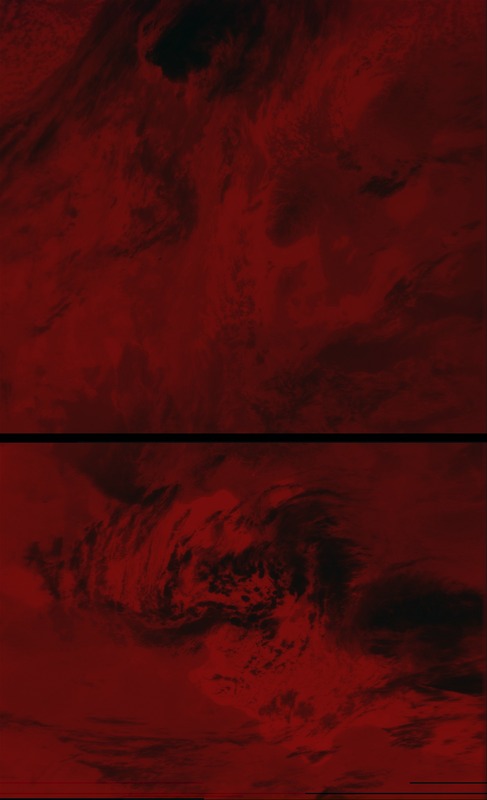 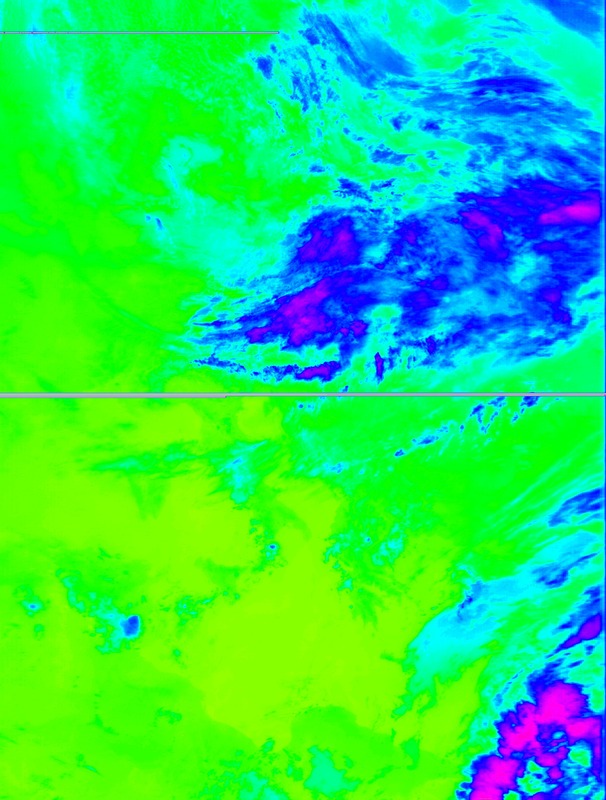 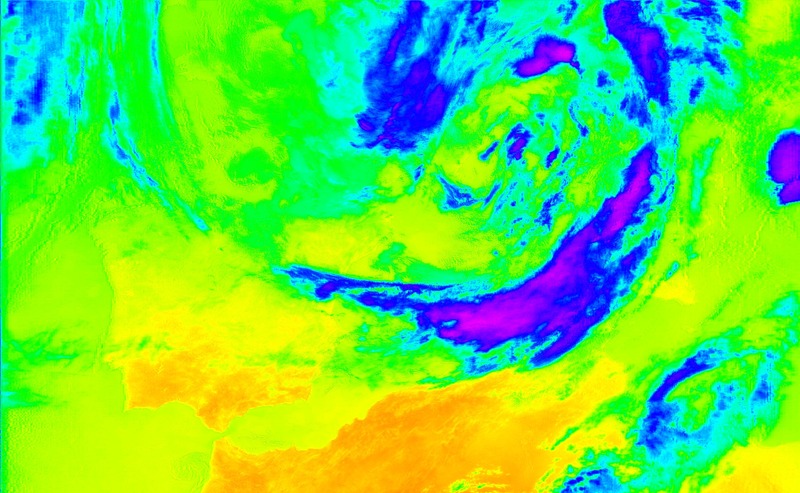 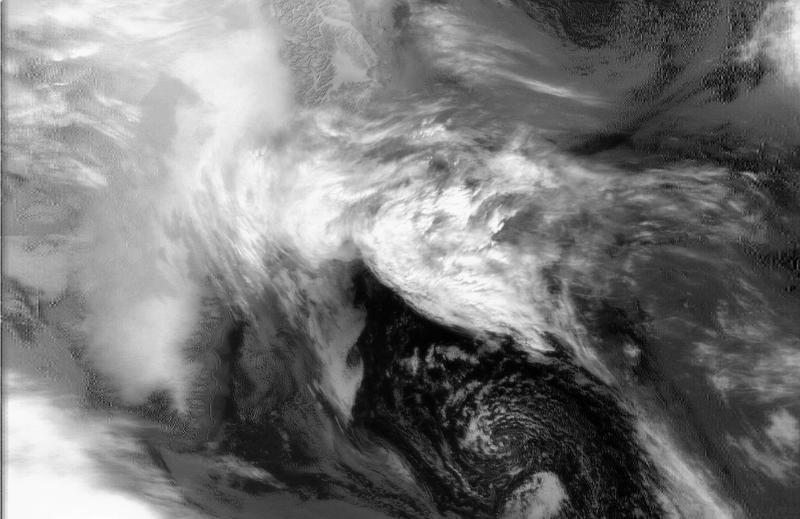 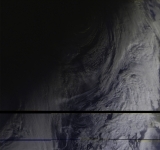 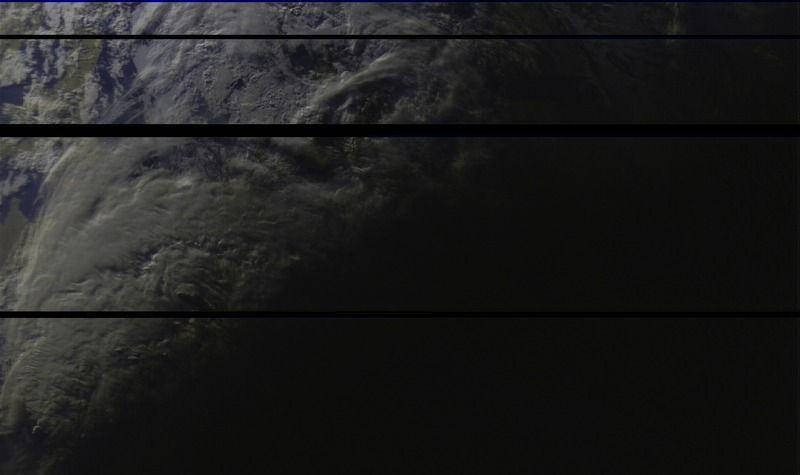 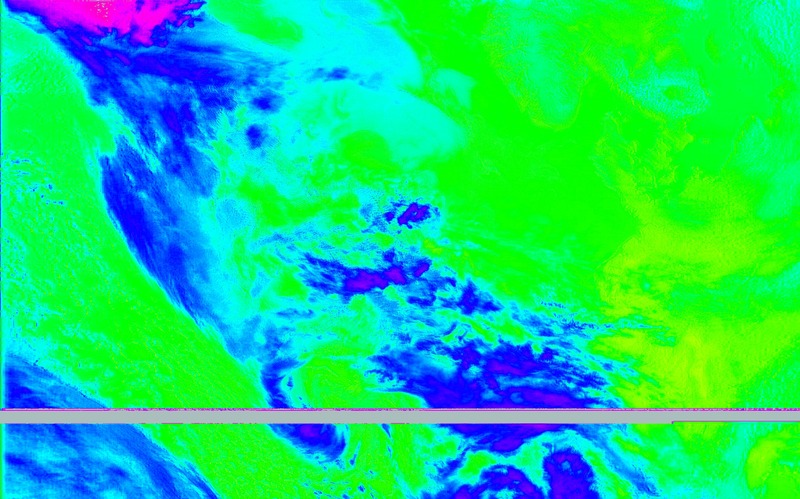 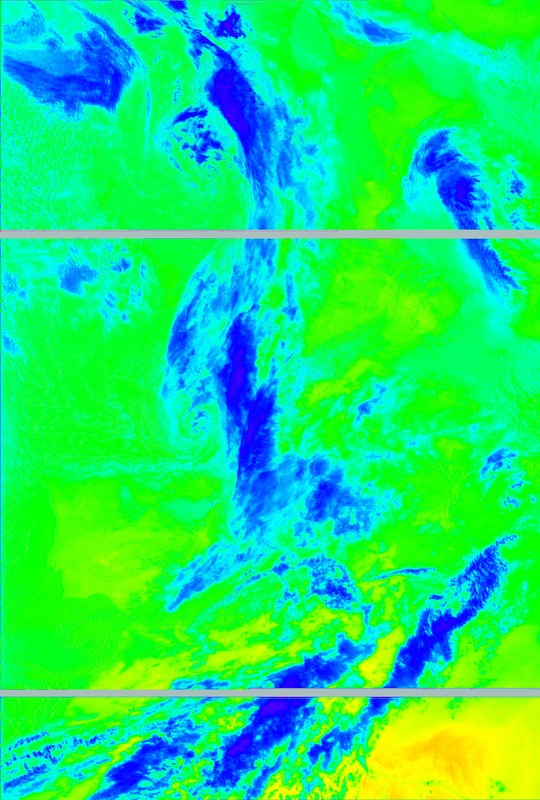 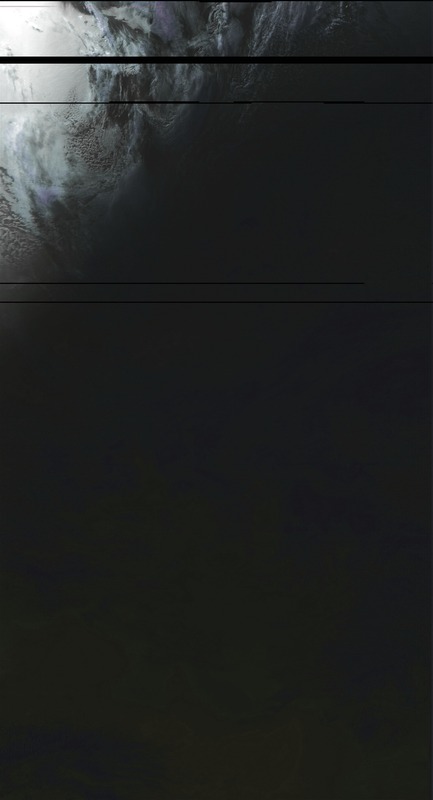 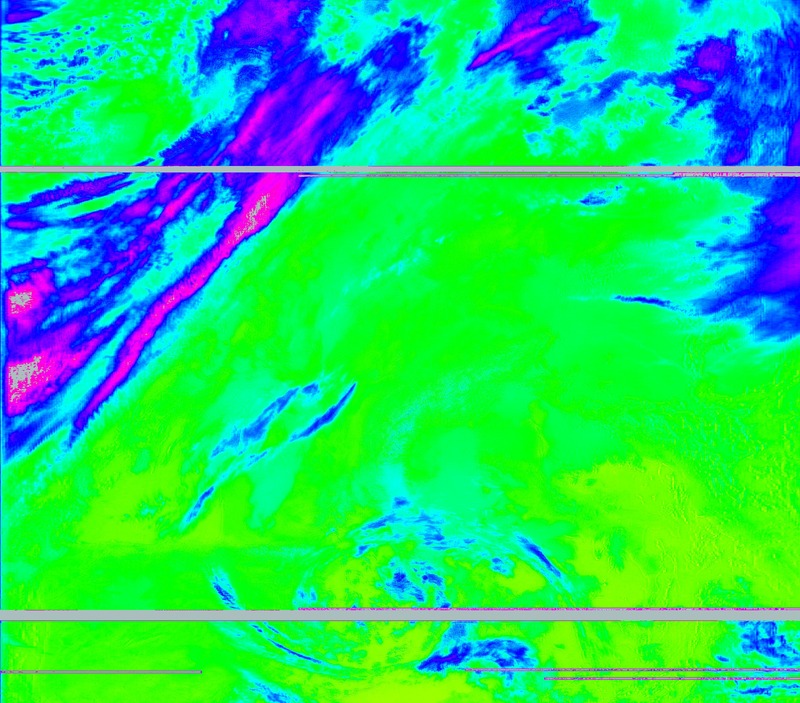 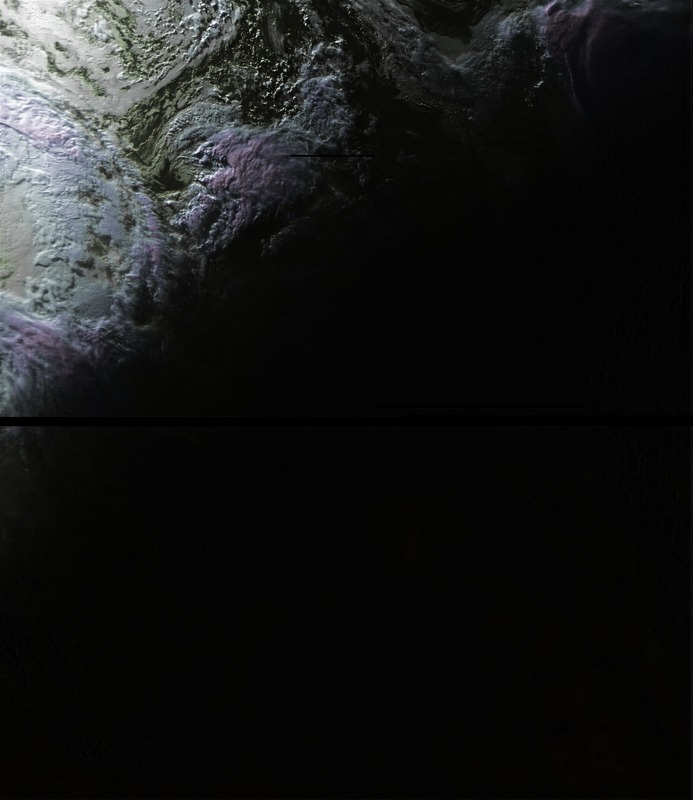 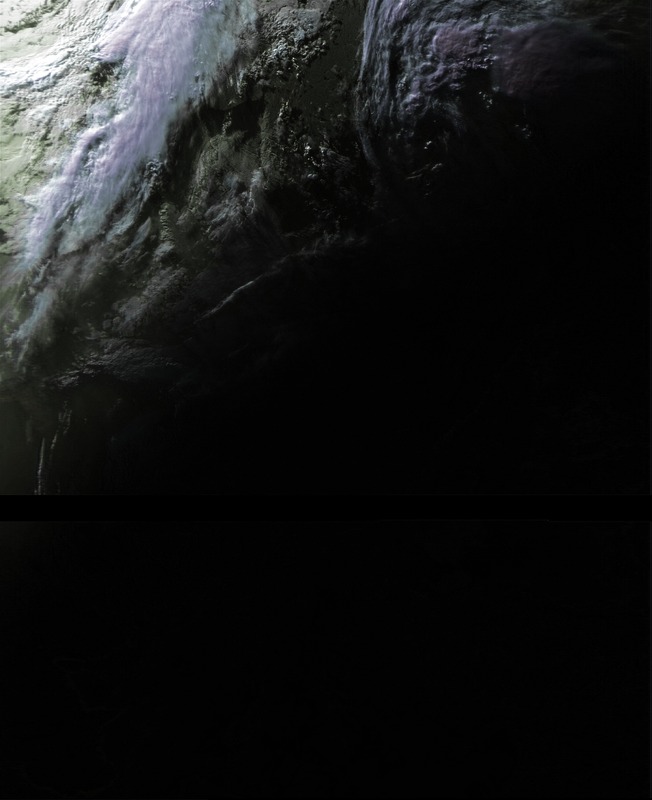 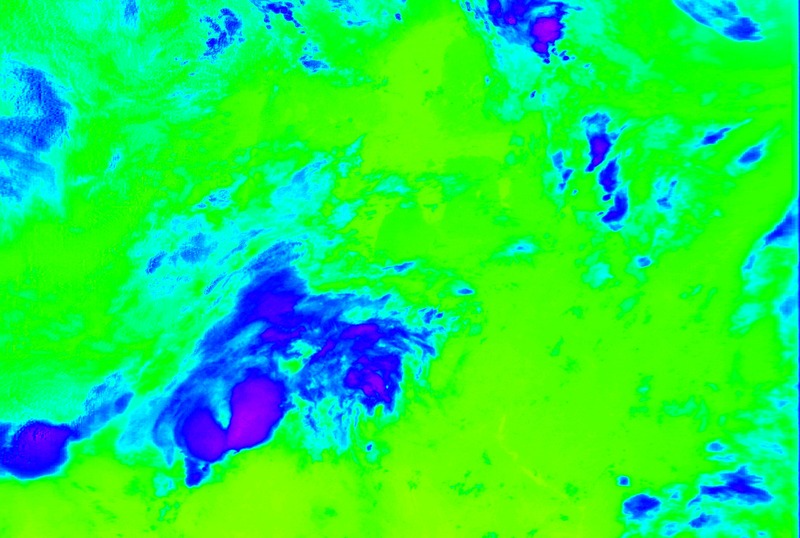 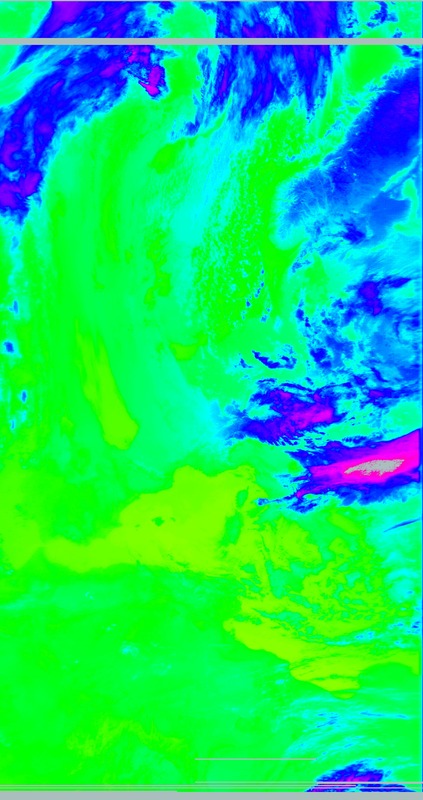 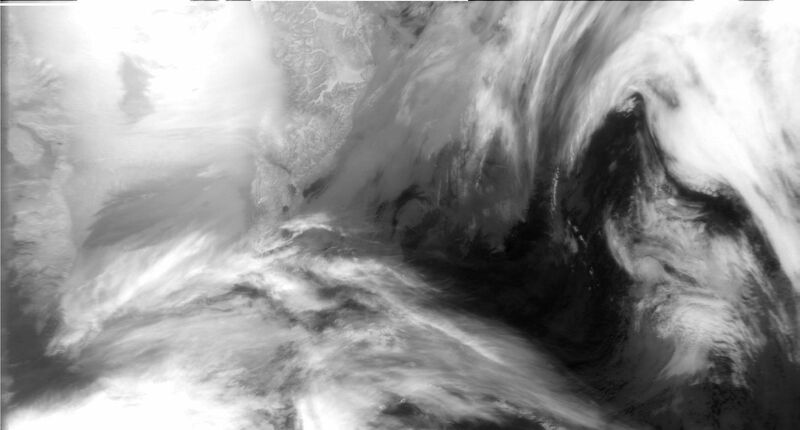 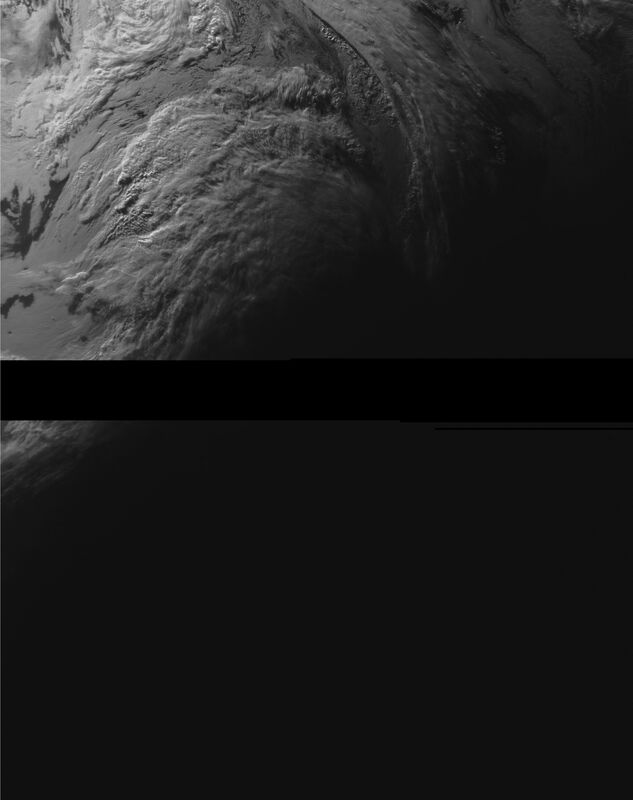 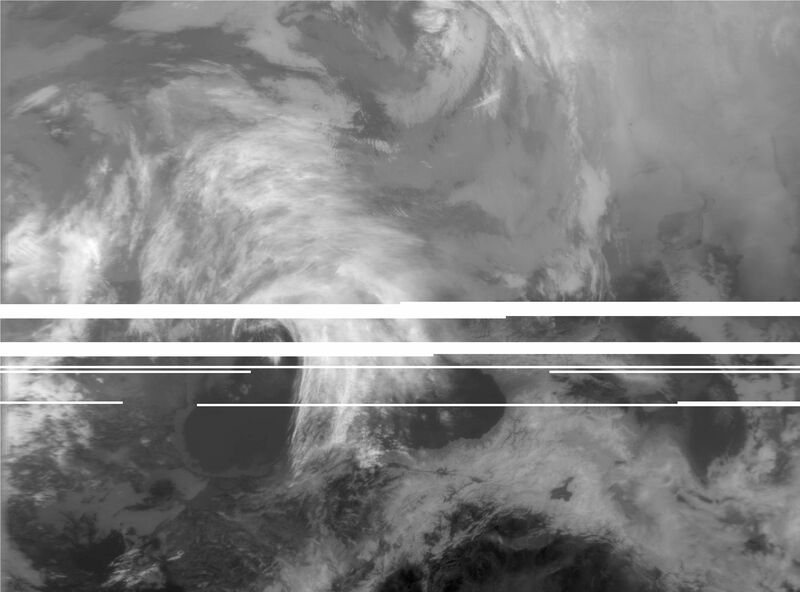 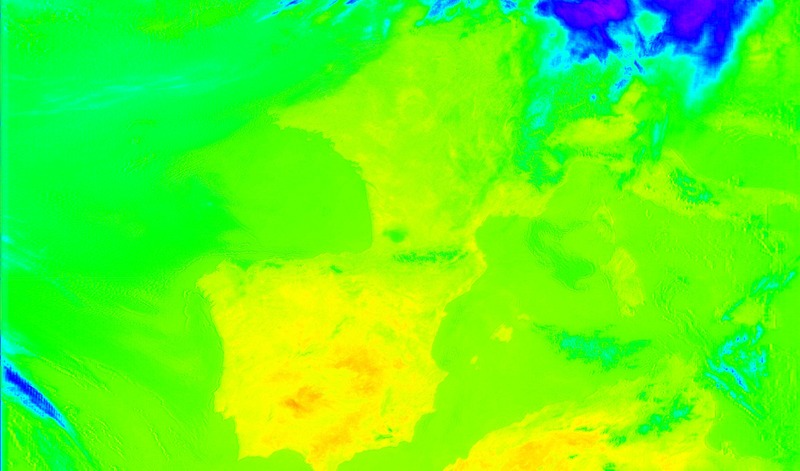 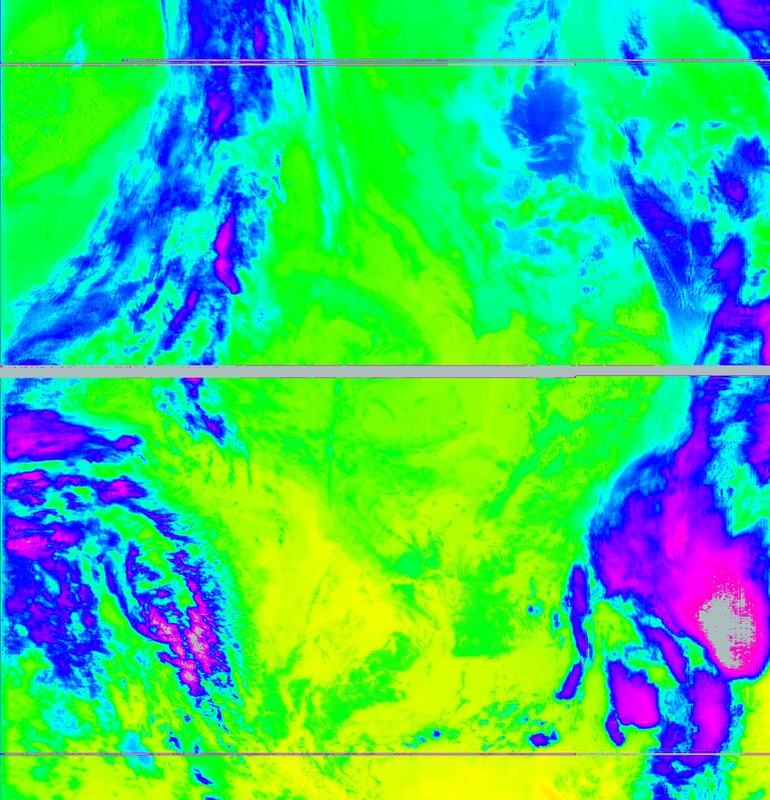 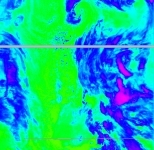 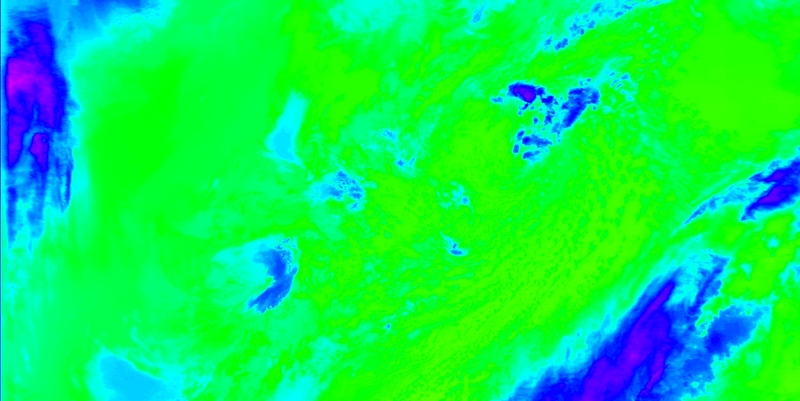 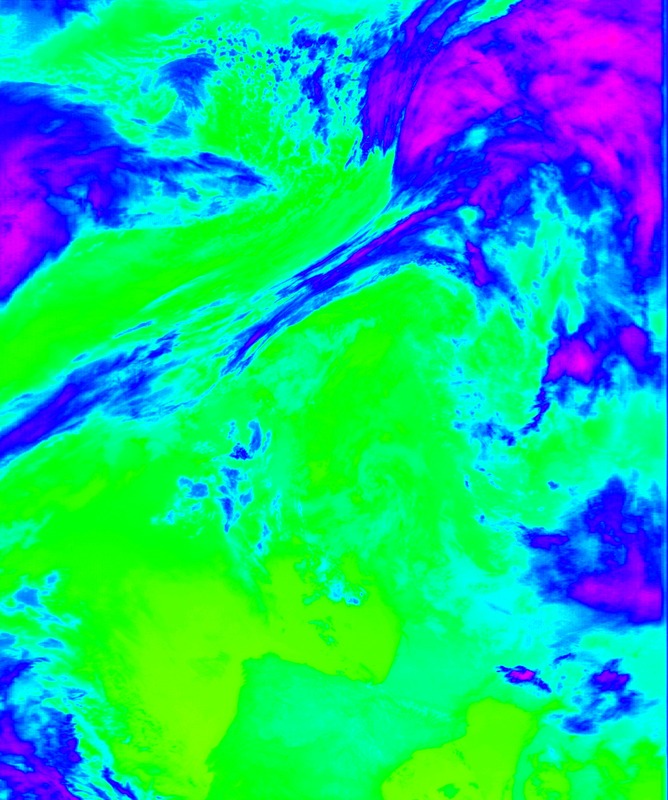 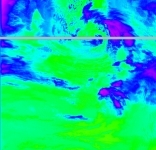 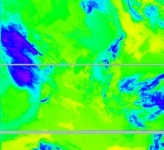 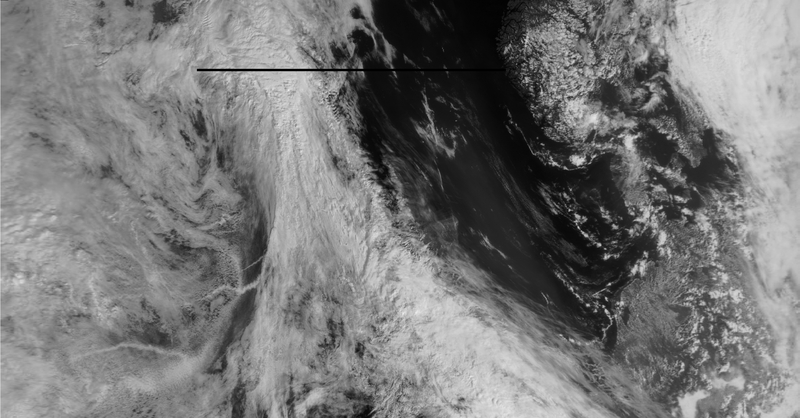 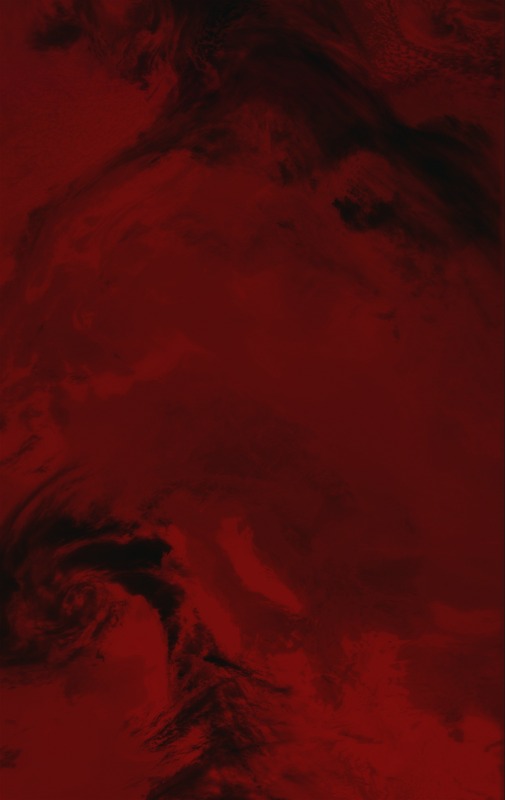 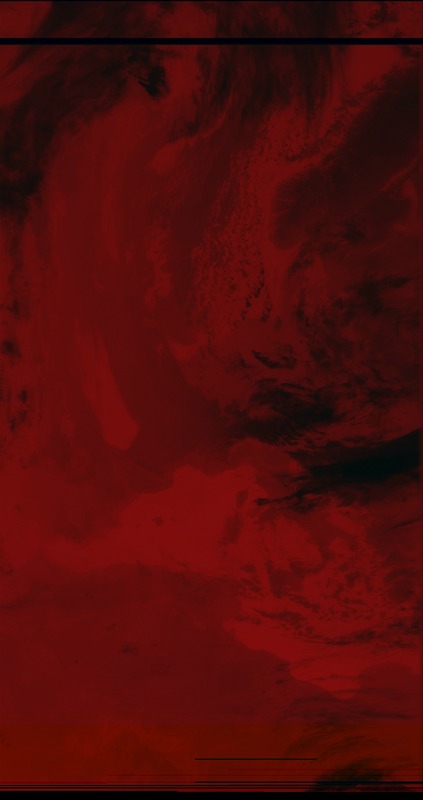 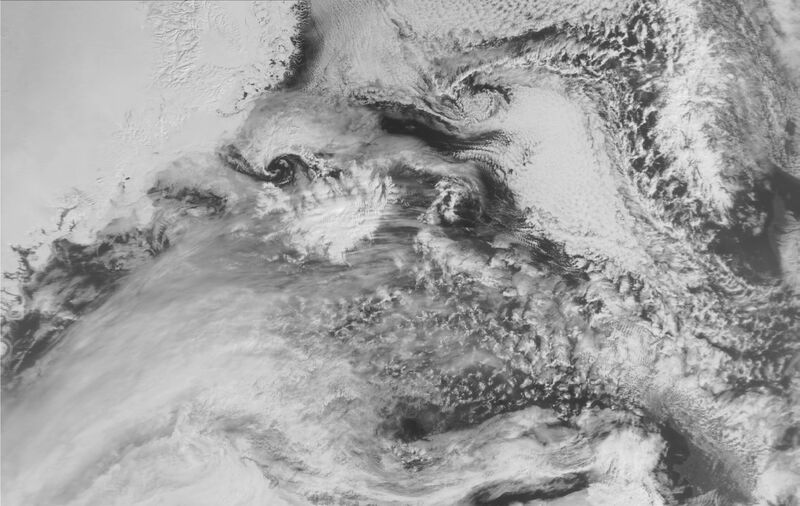 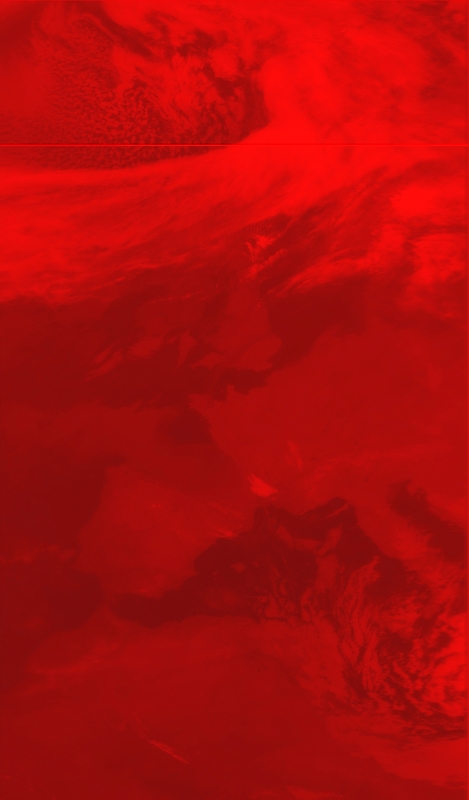 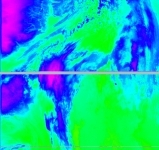 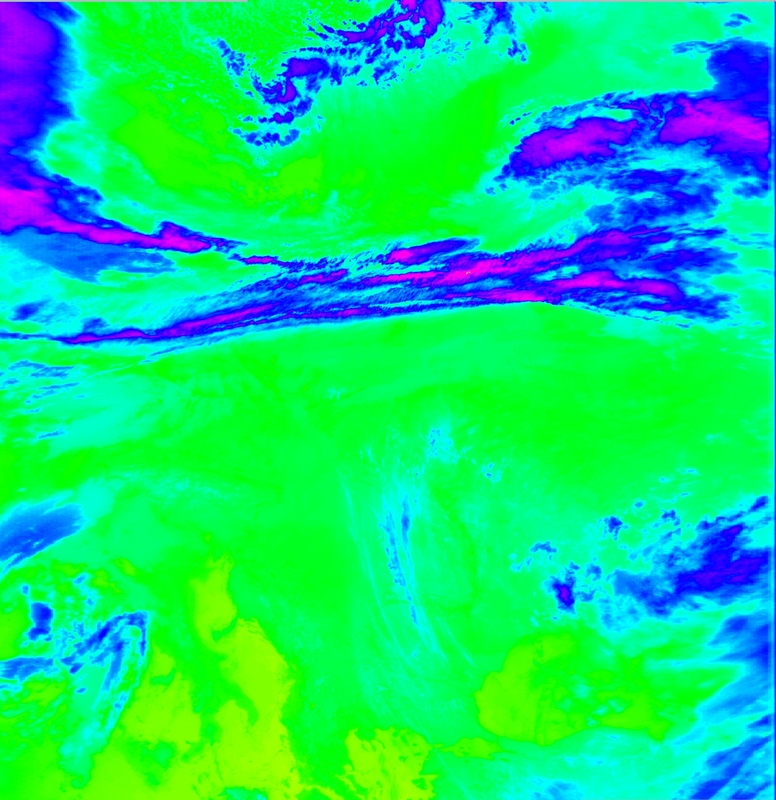 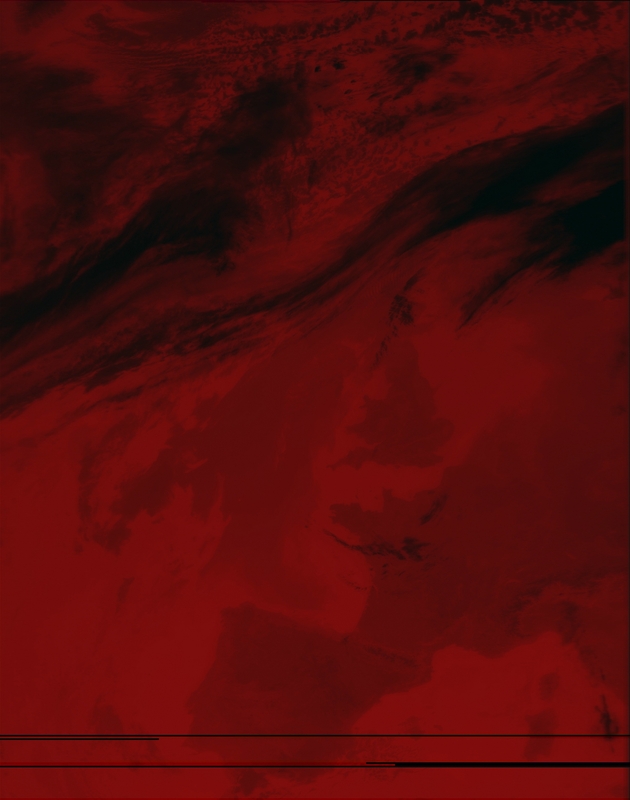 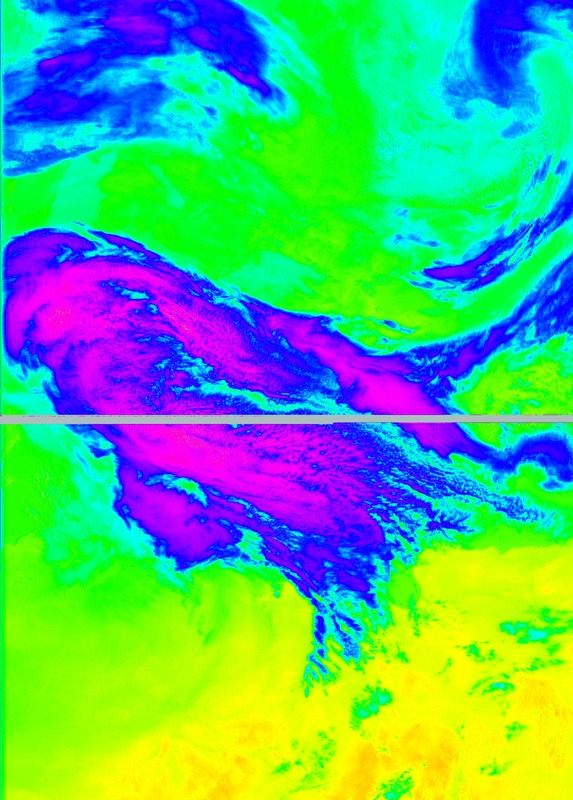 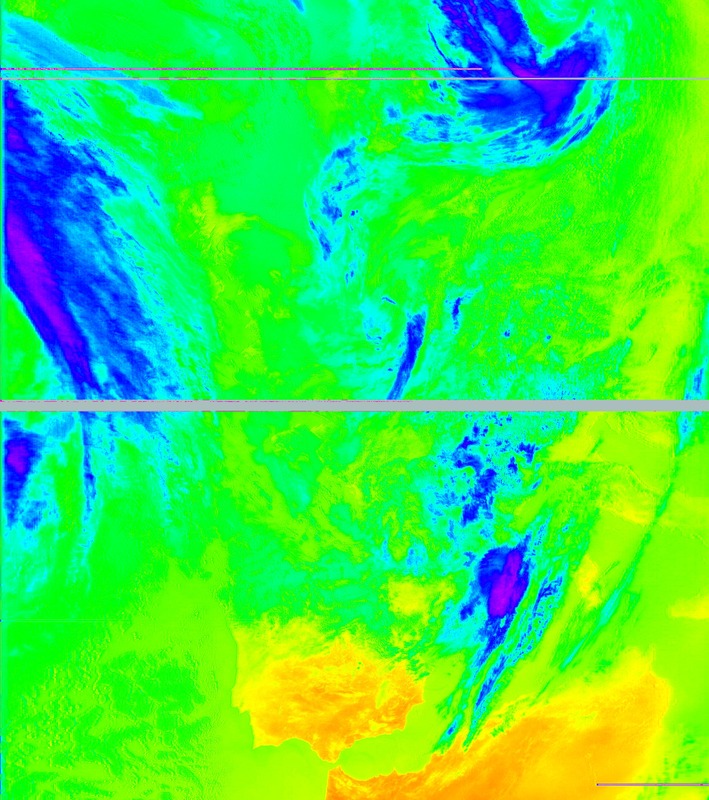 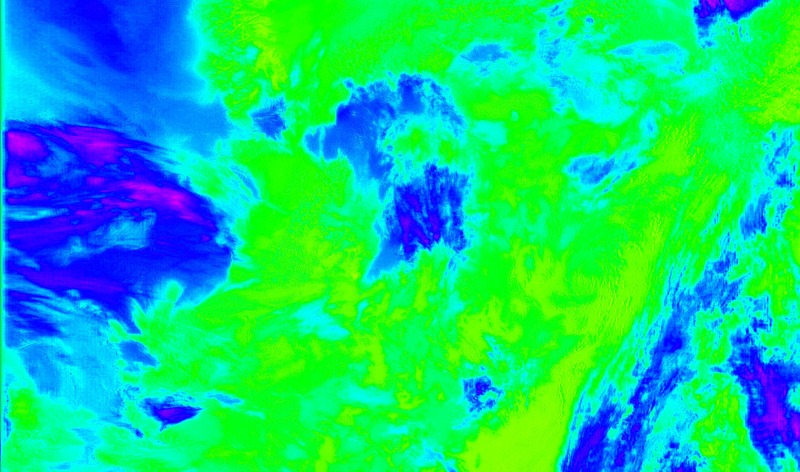 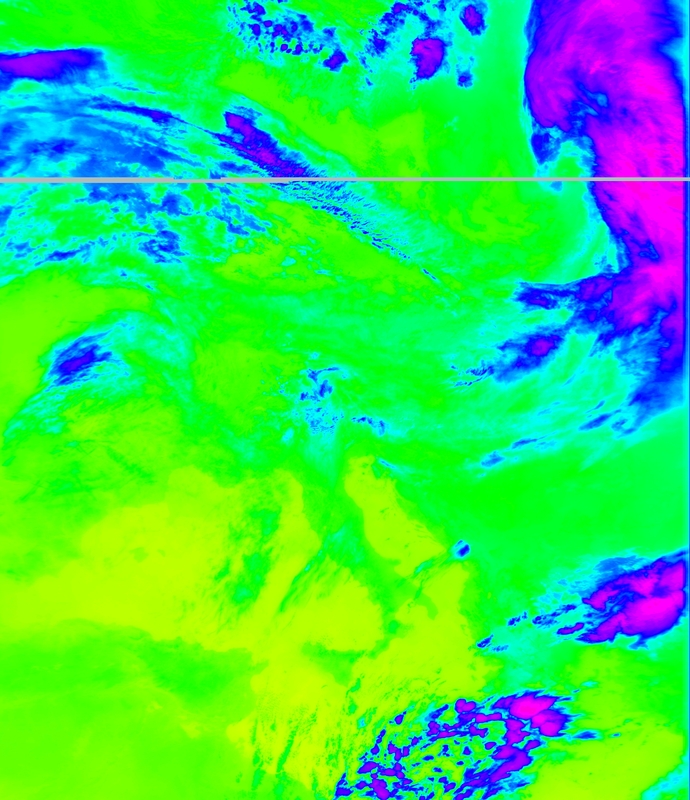 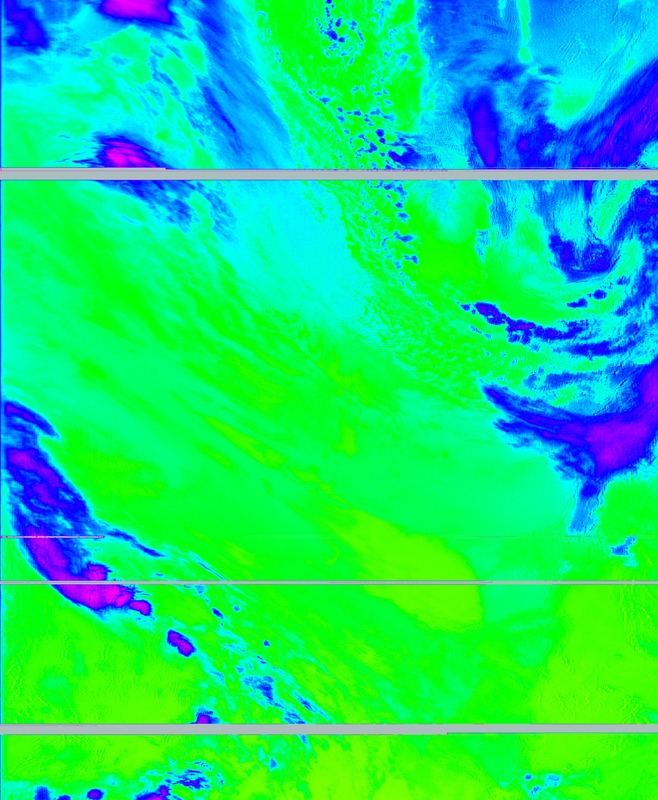 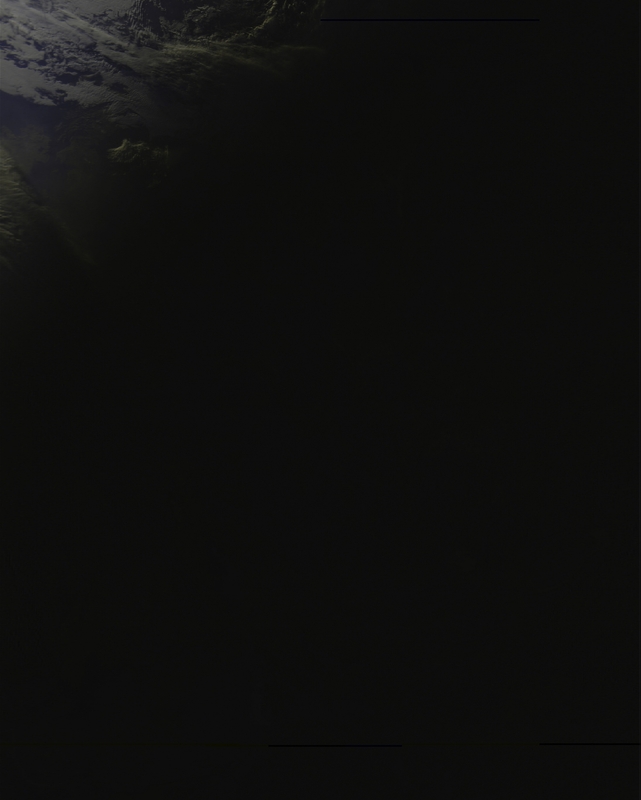 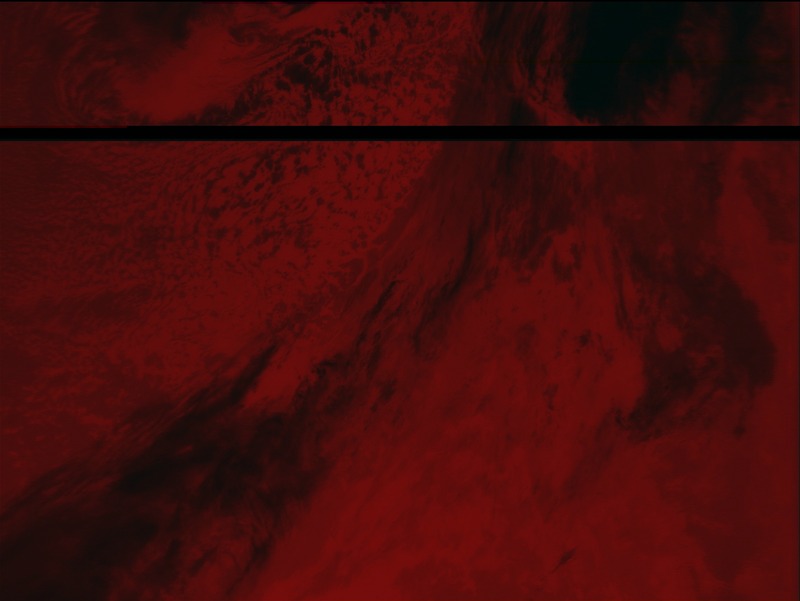 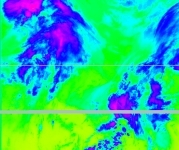 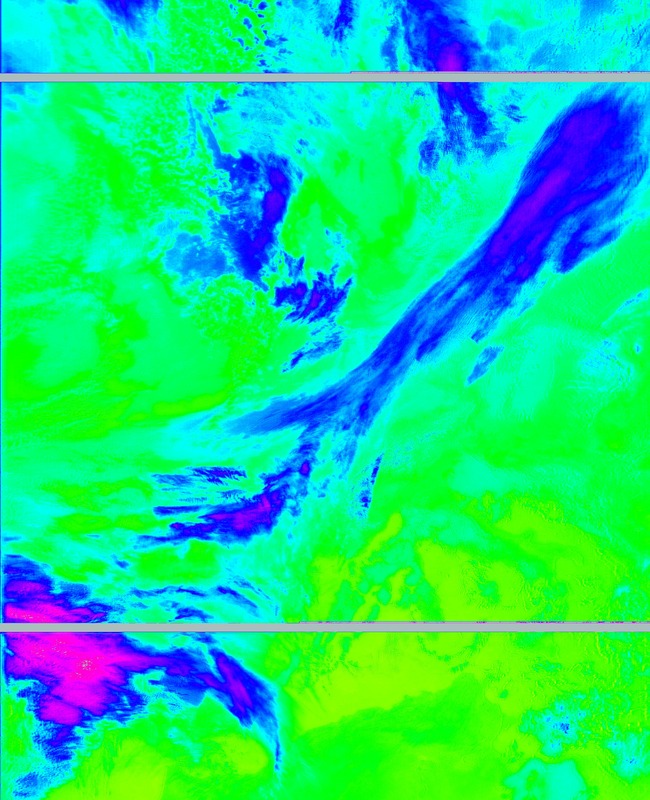 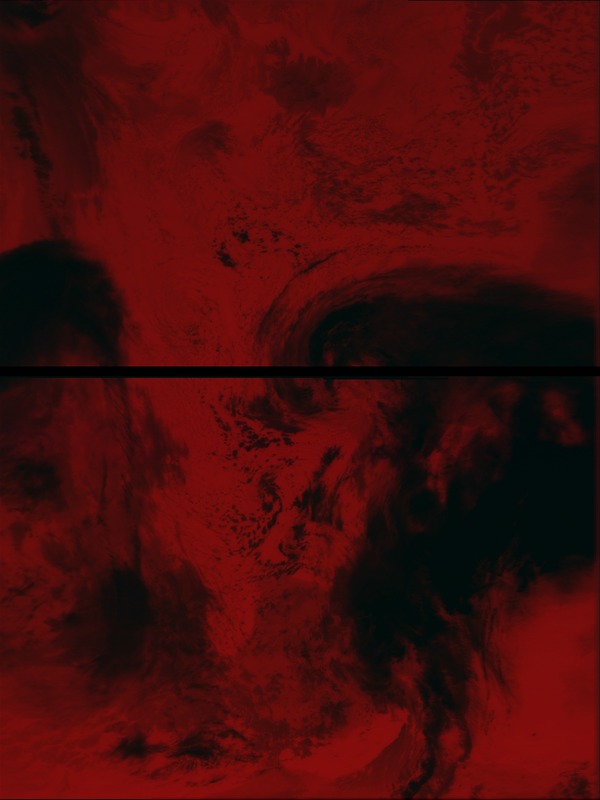 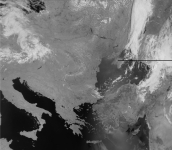 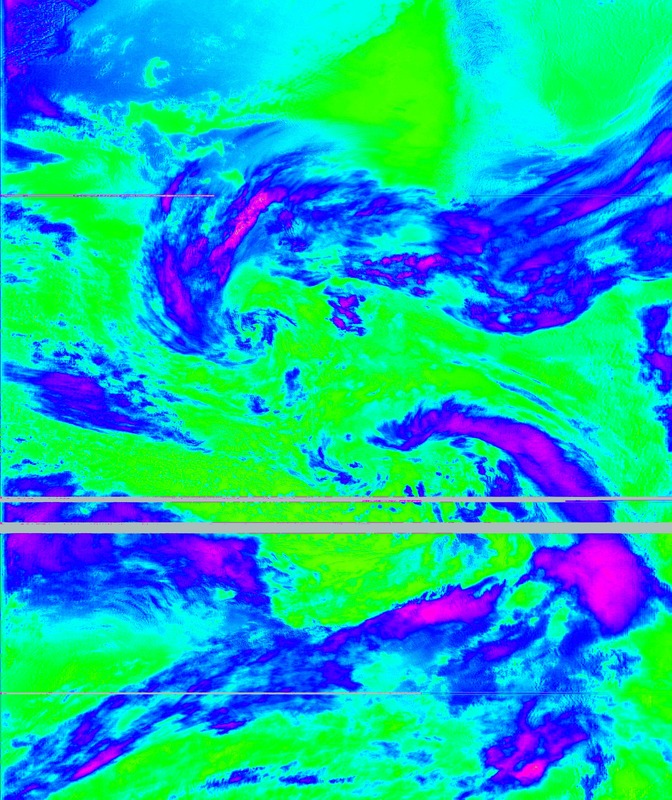 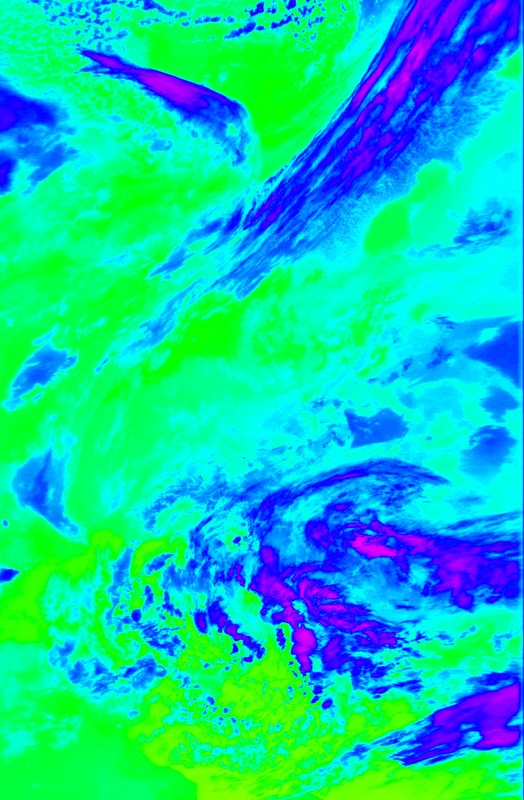 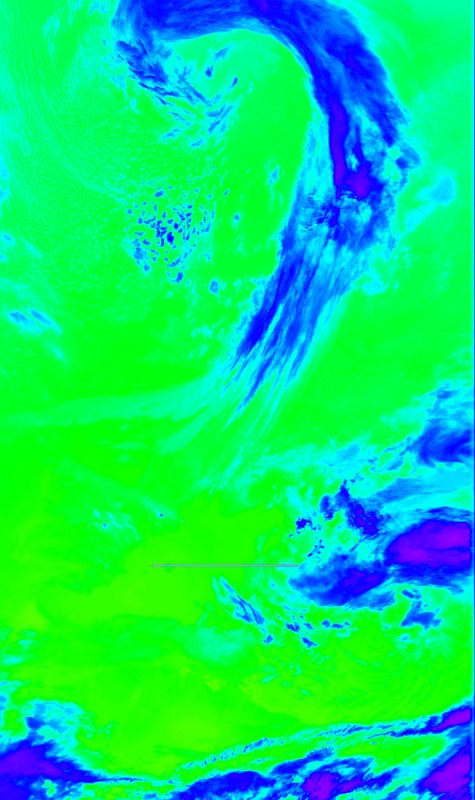 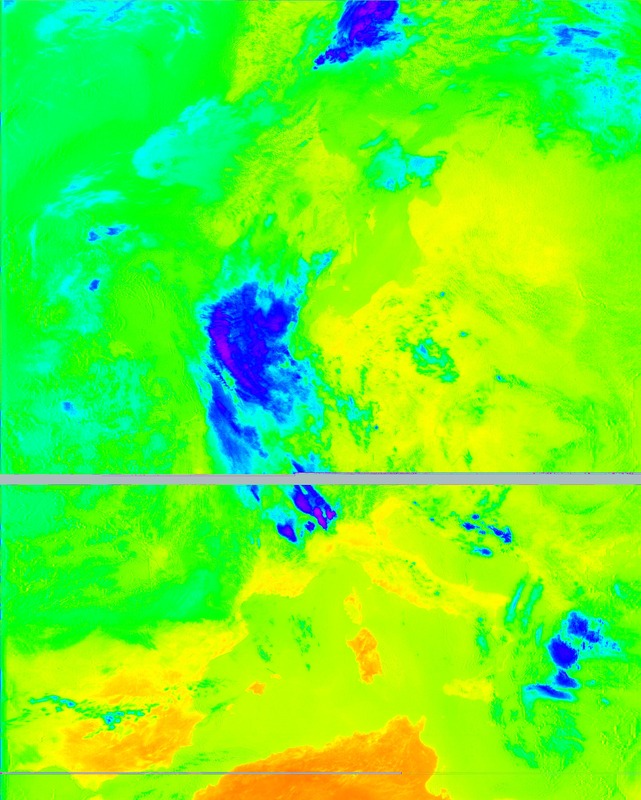 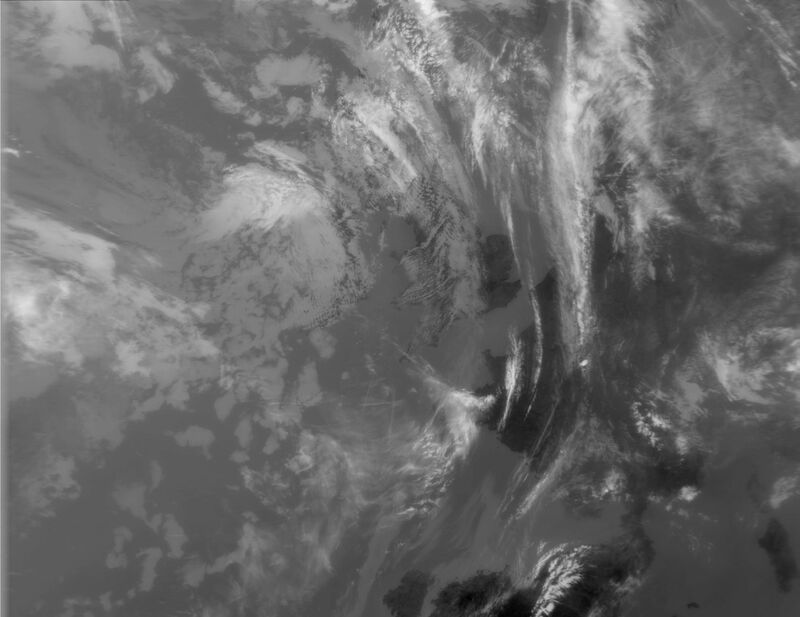 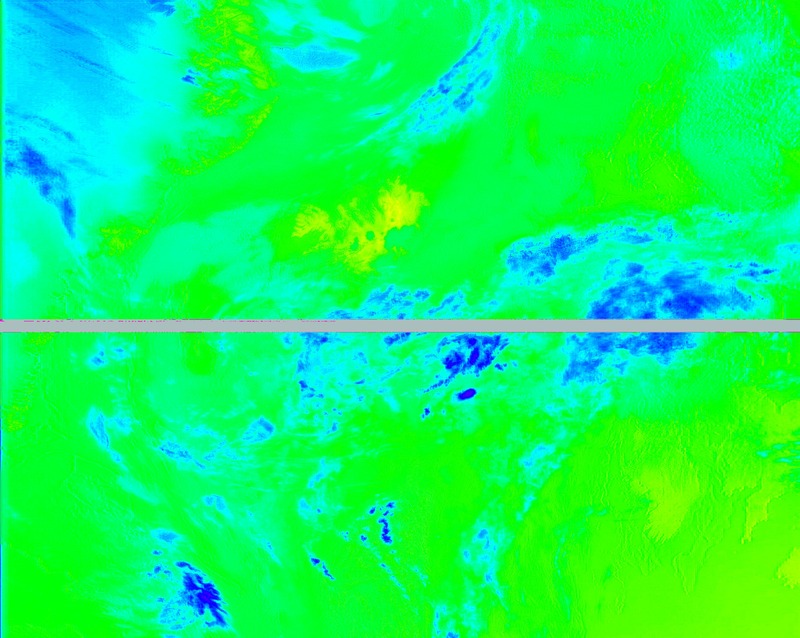 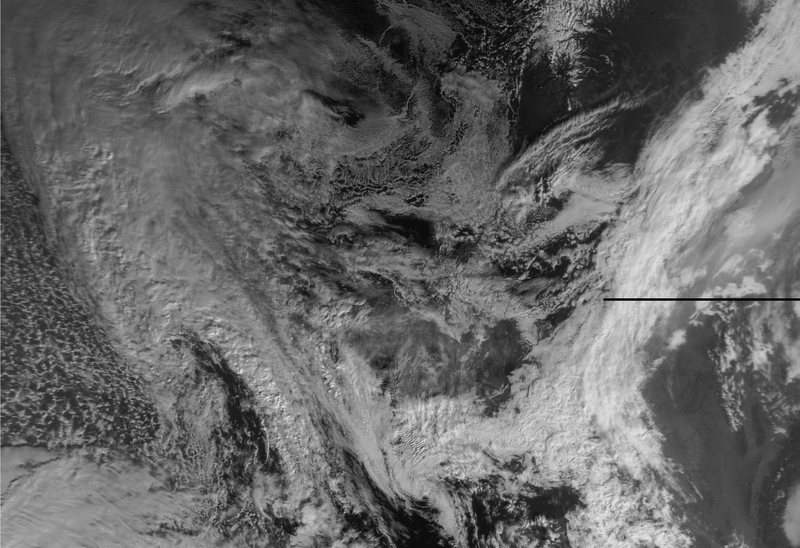 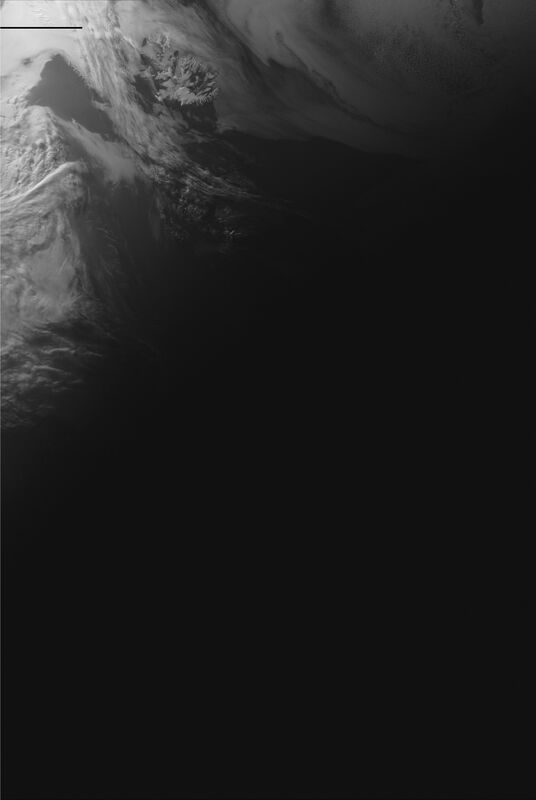 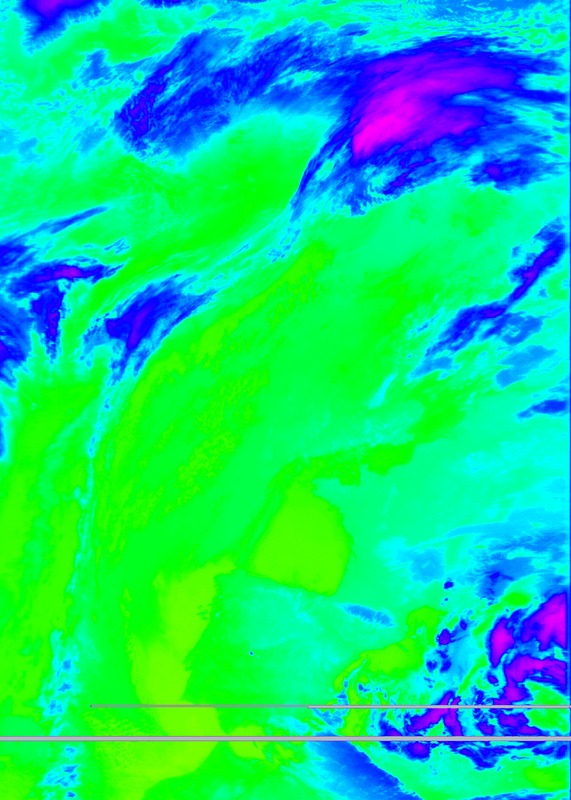 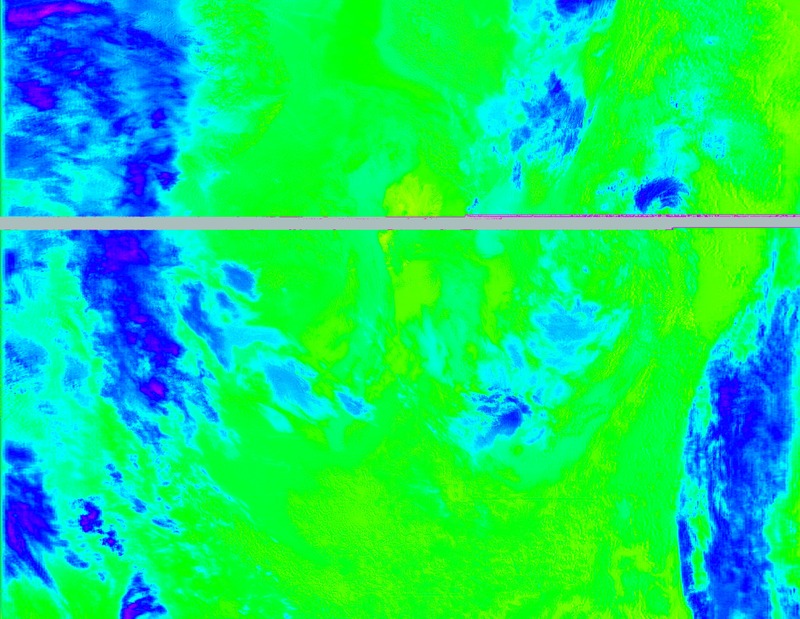 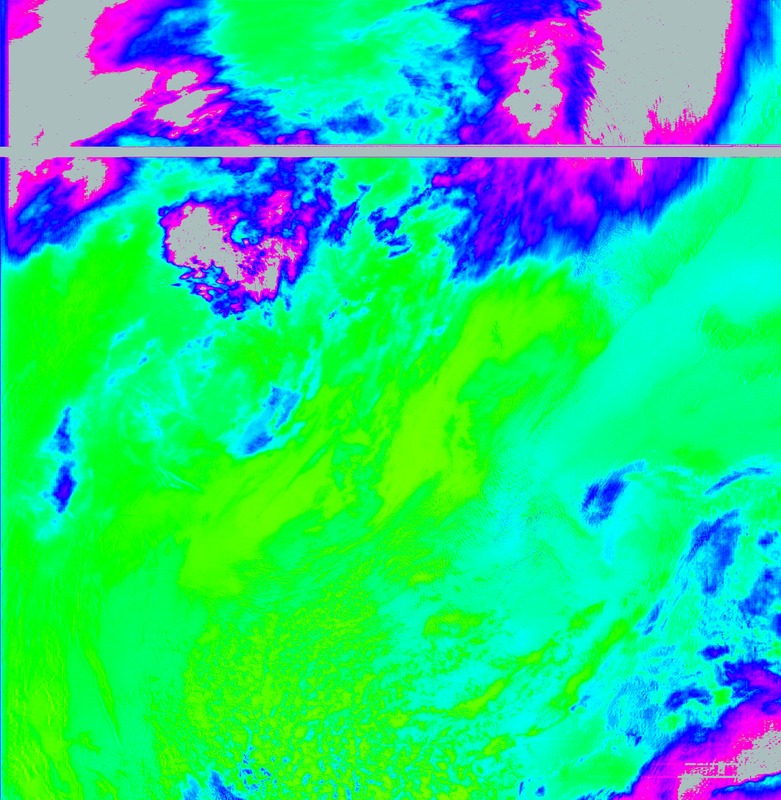 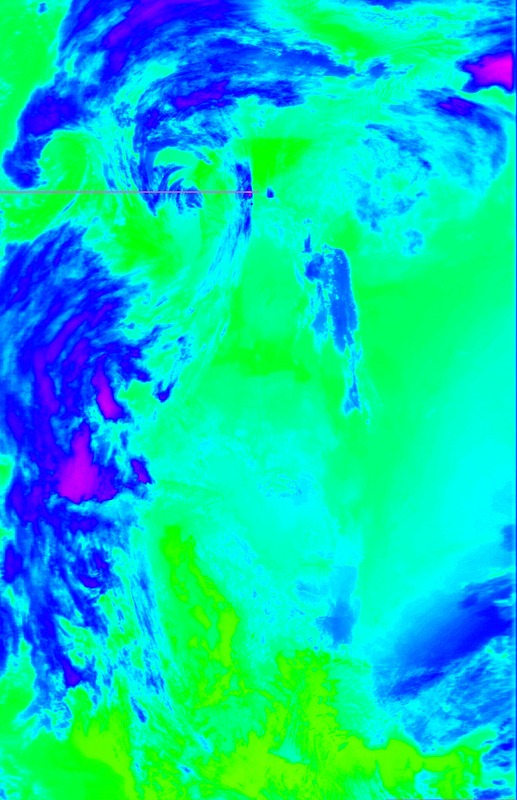 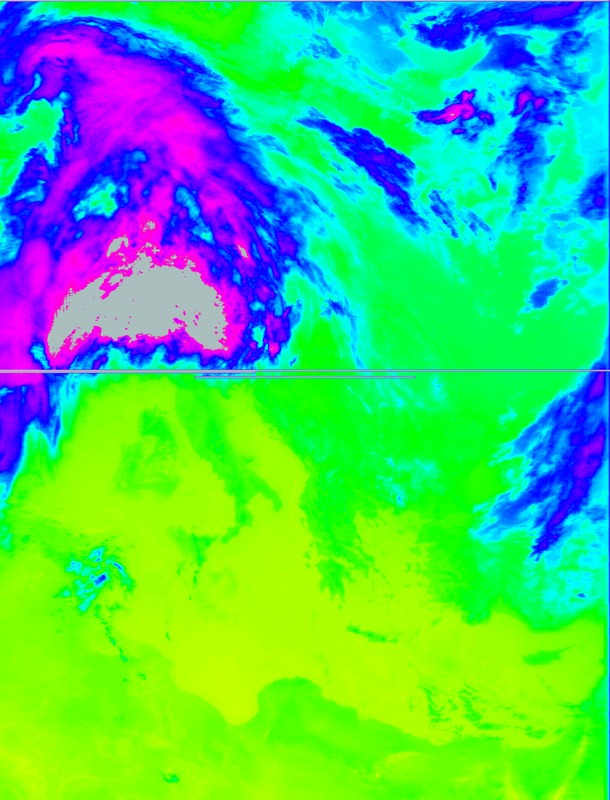 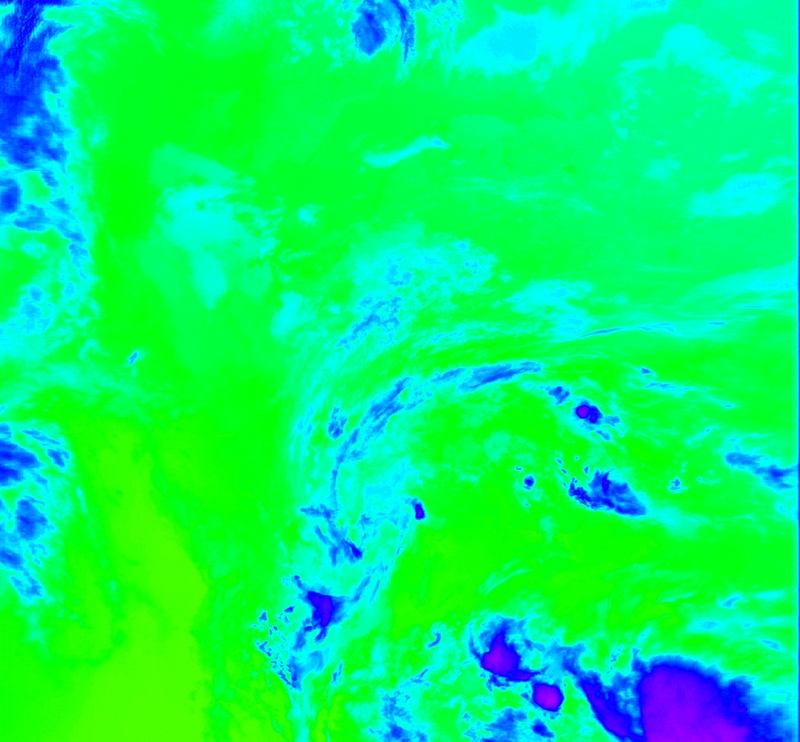 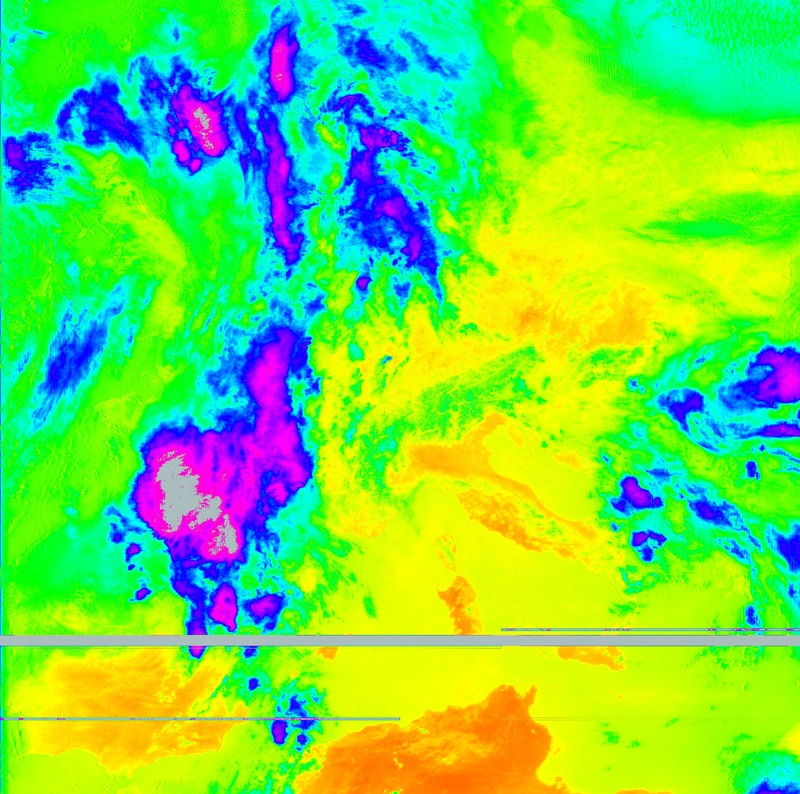 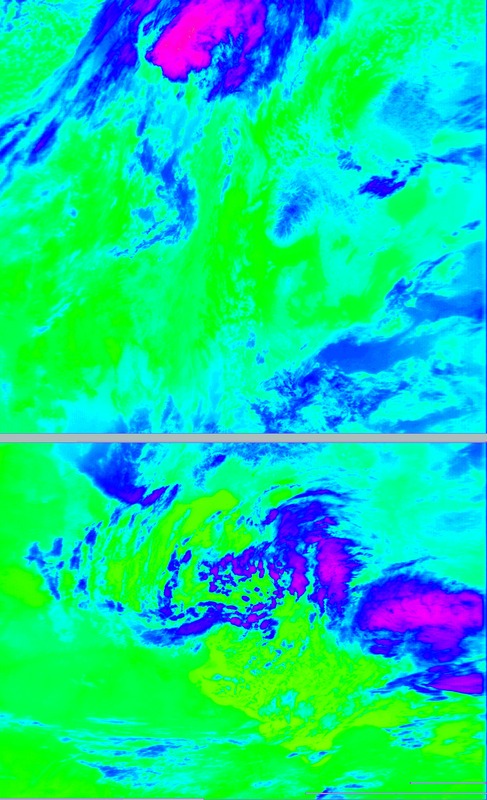 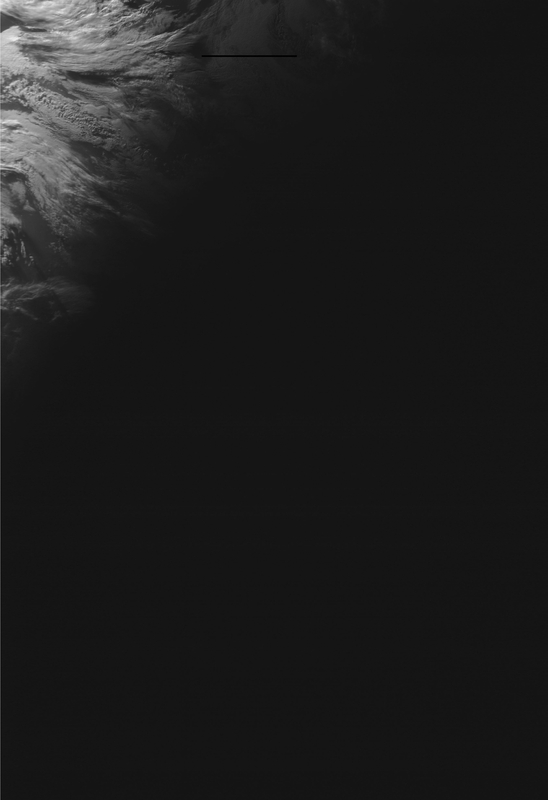 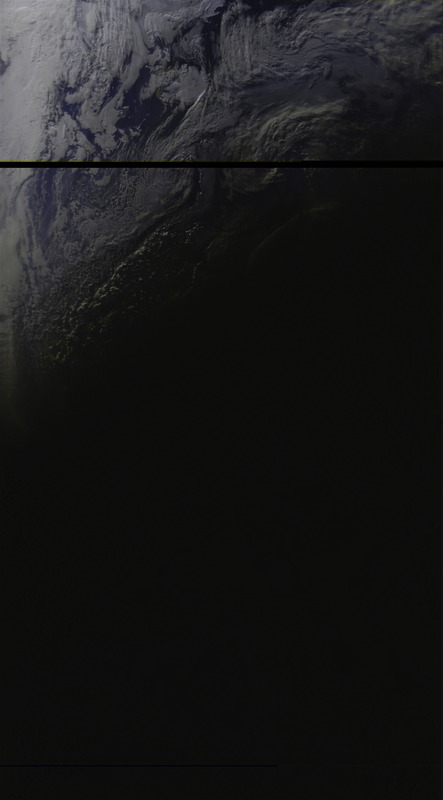 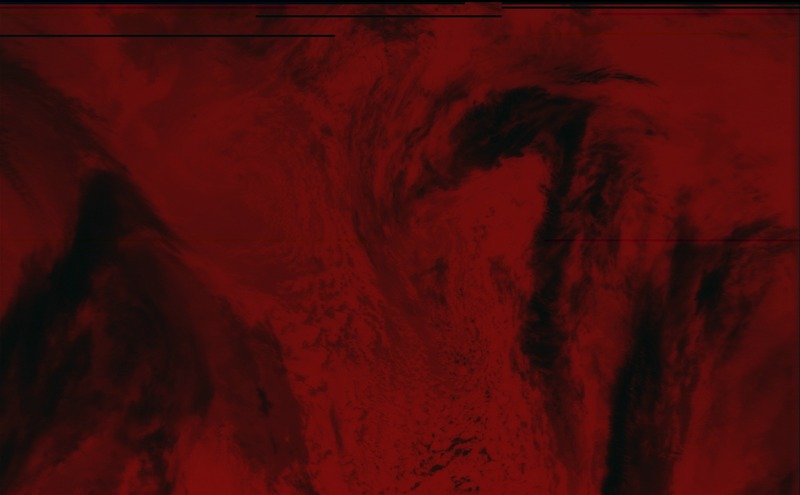 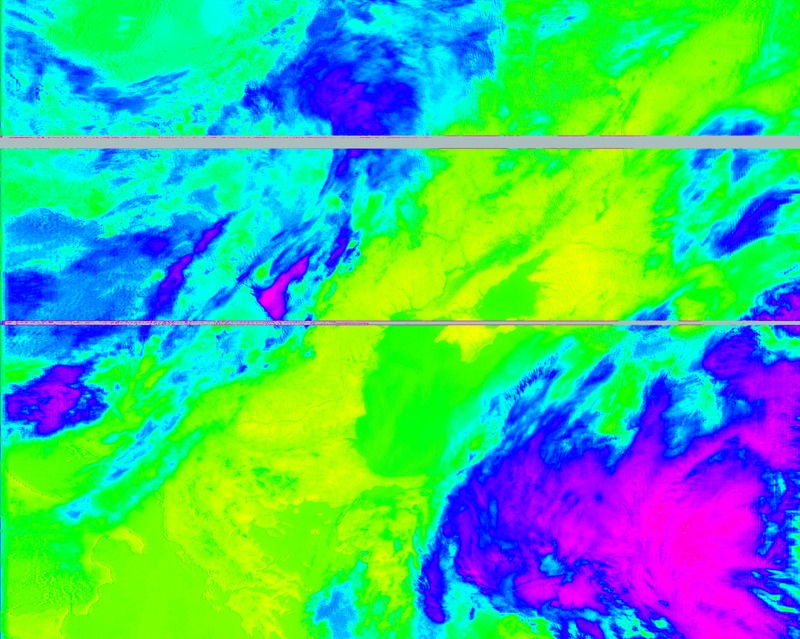 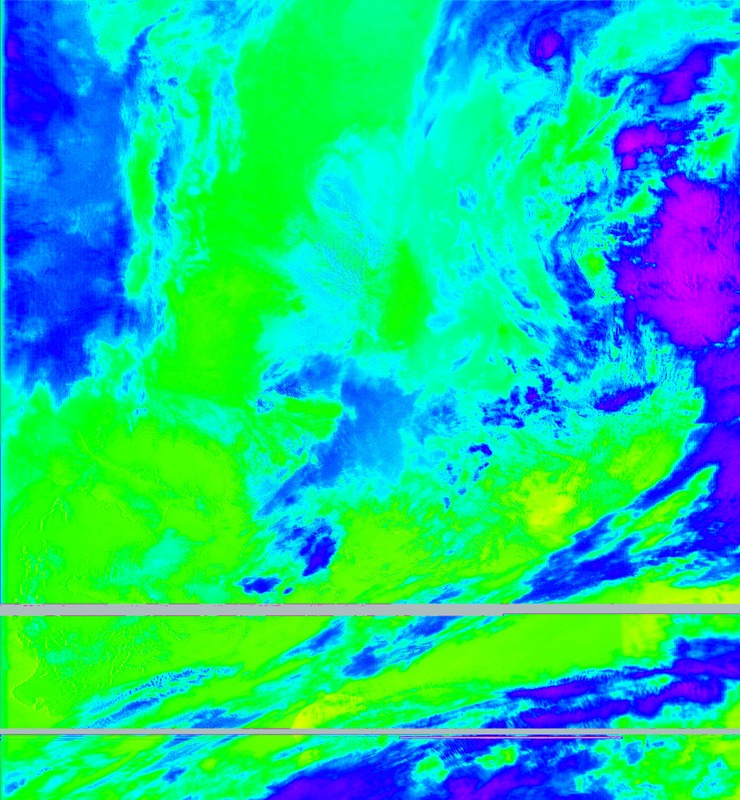 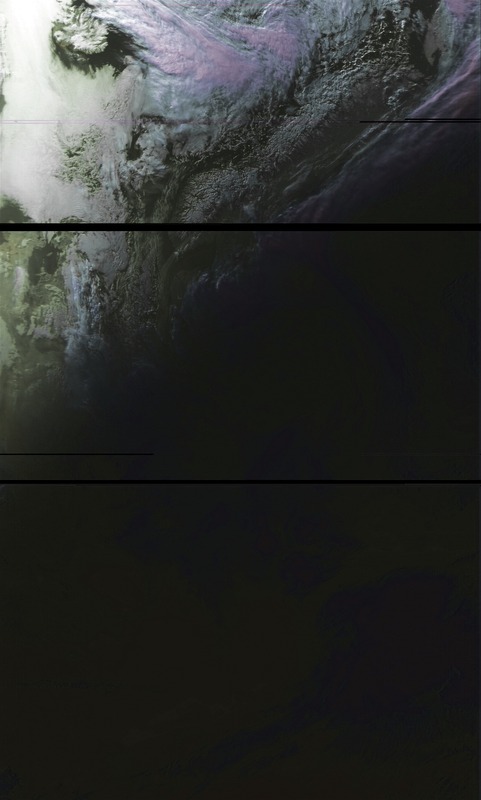 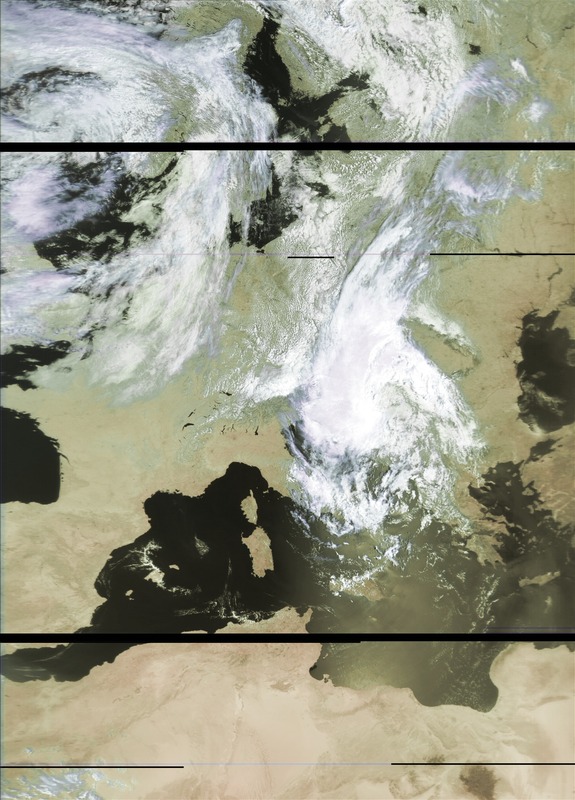 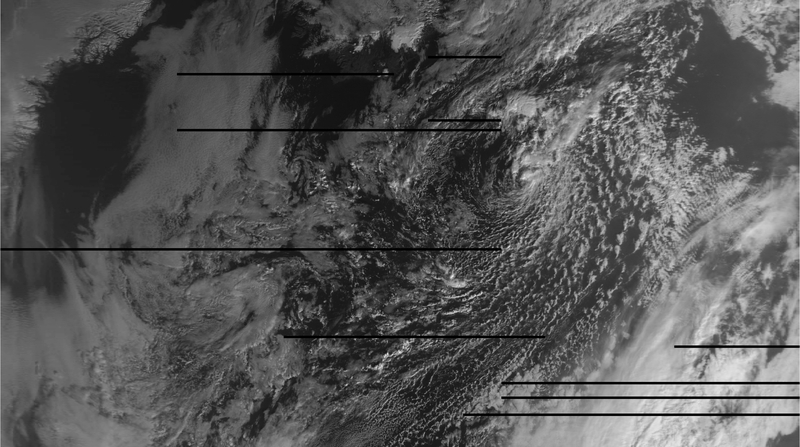 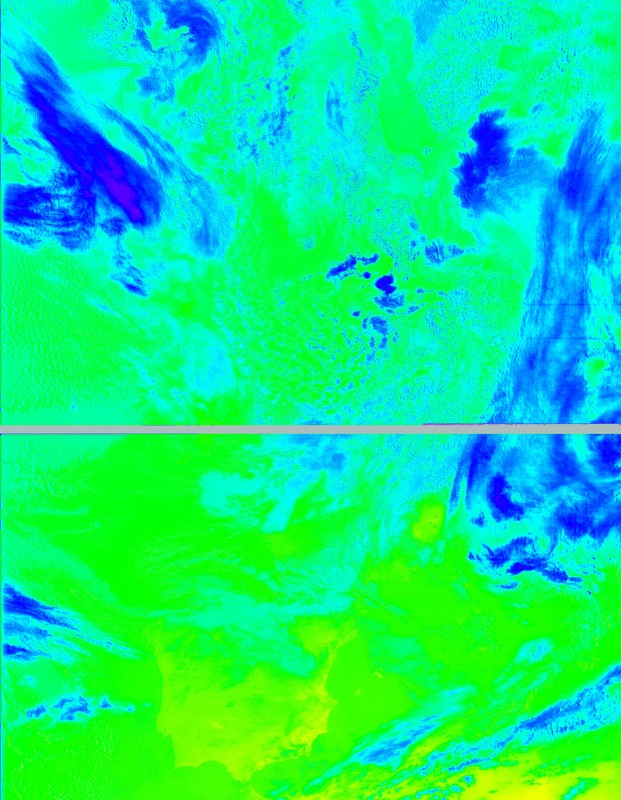 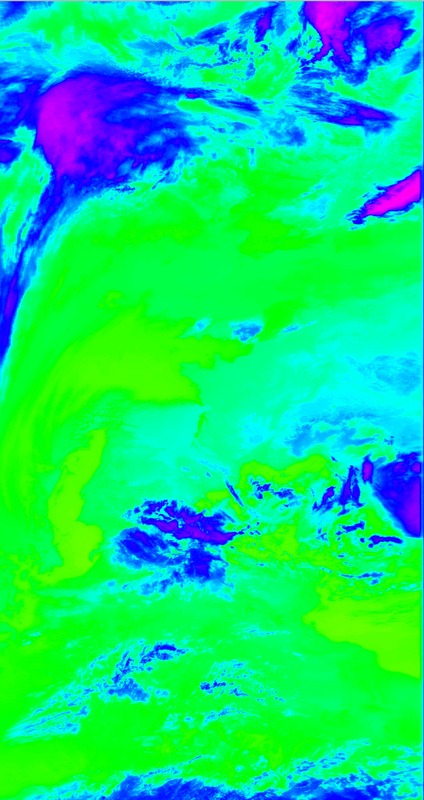 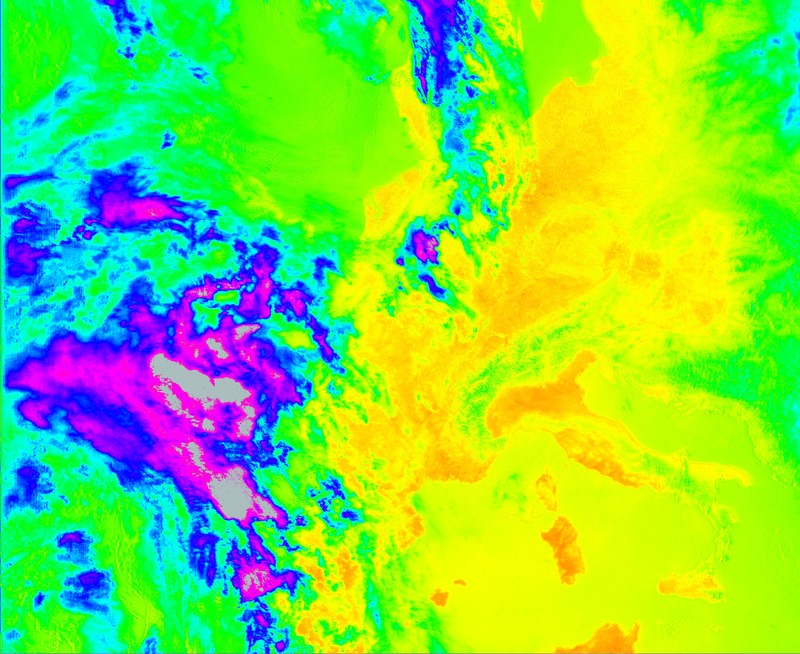 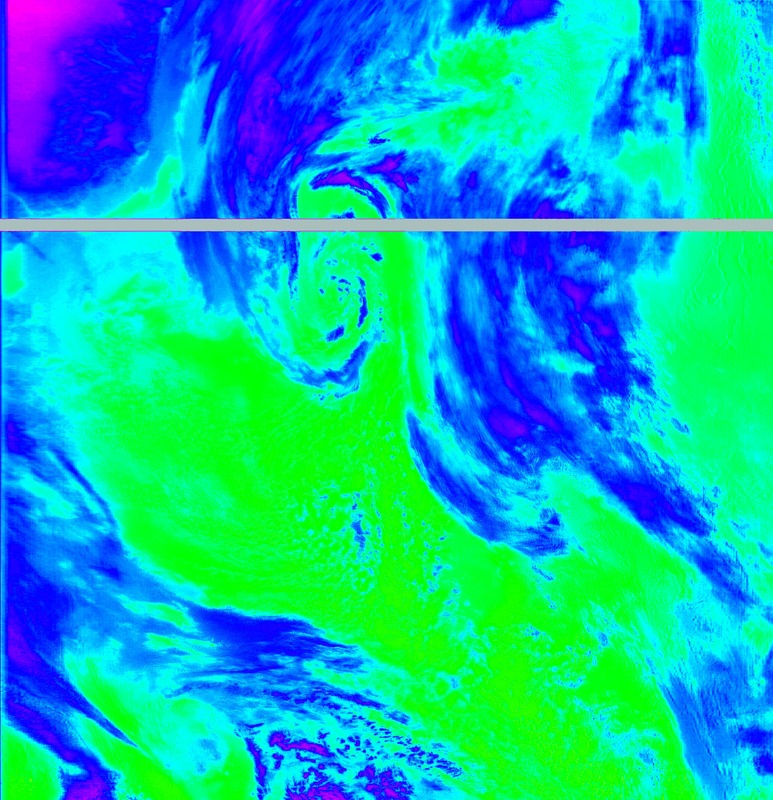 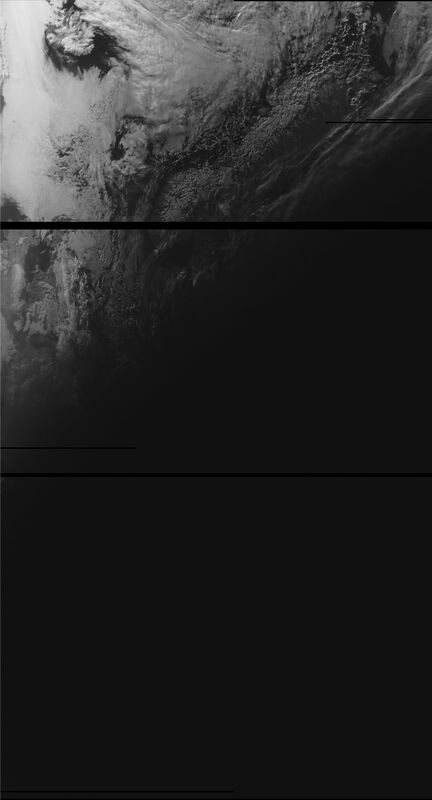 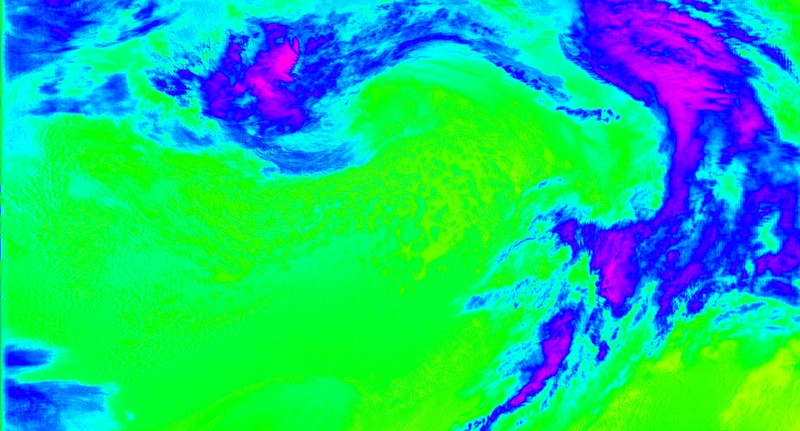 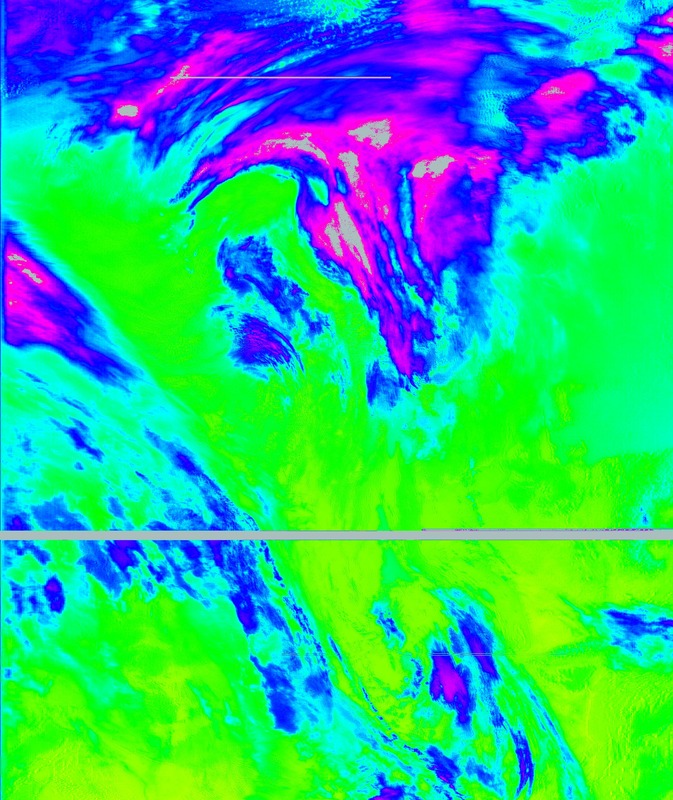 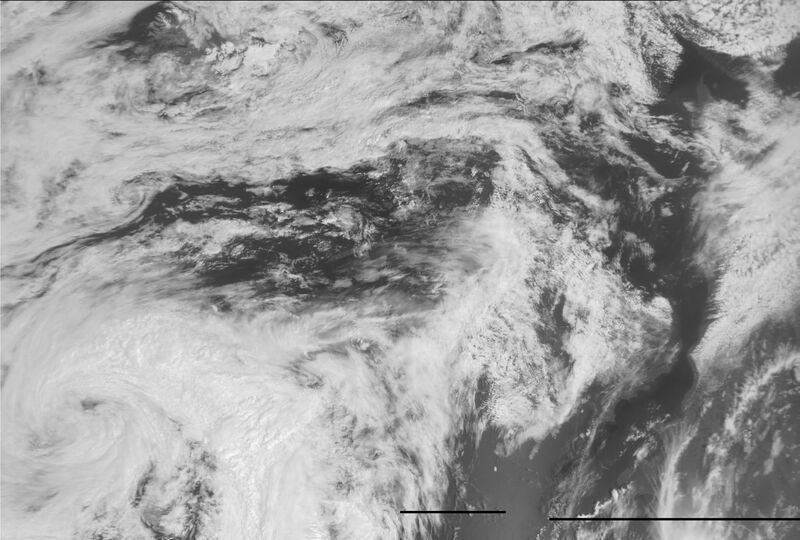 On August 18th 2015 sometime shortly before 07:15h UTC Meteor M-N2 lost attitude control and thus the camera was no more directed NADIR. 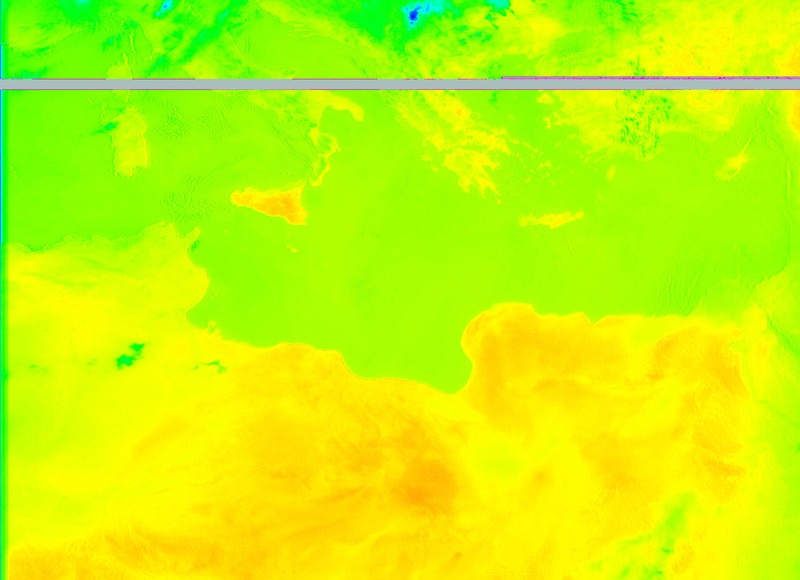 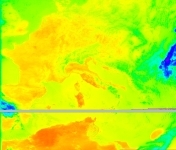 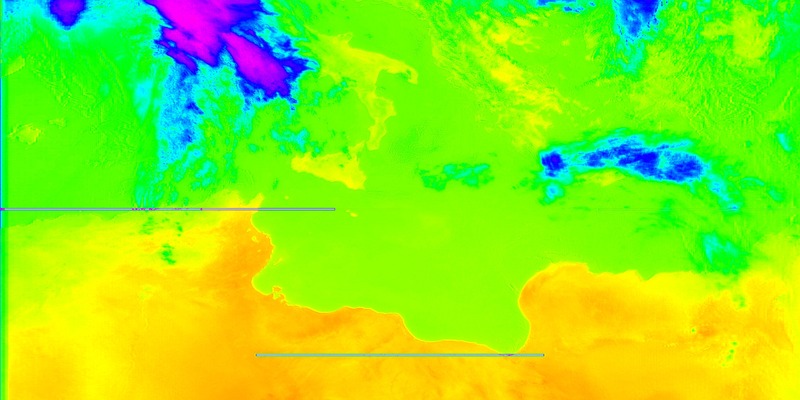 Thus we can see the mediterranian sea from the side. 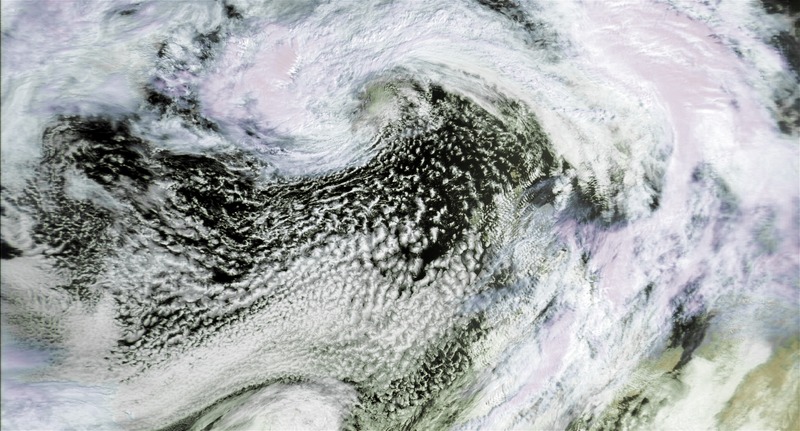 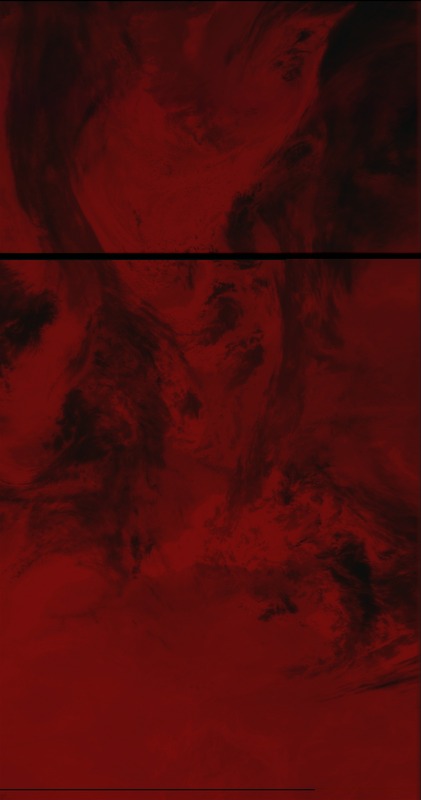 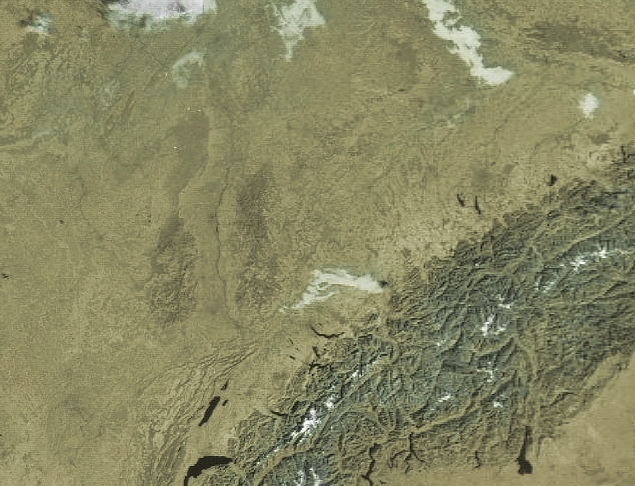 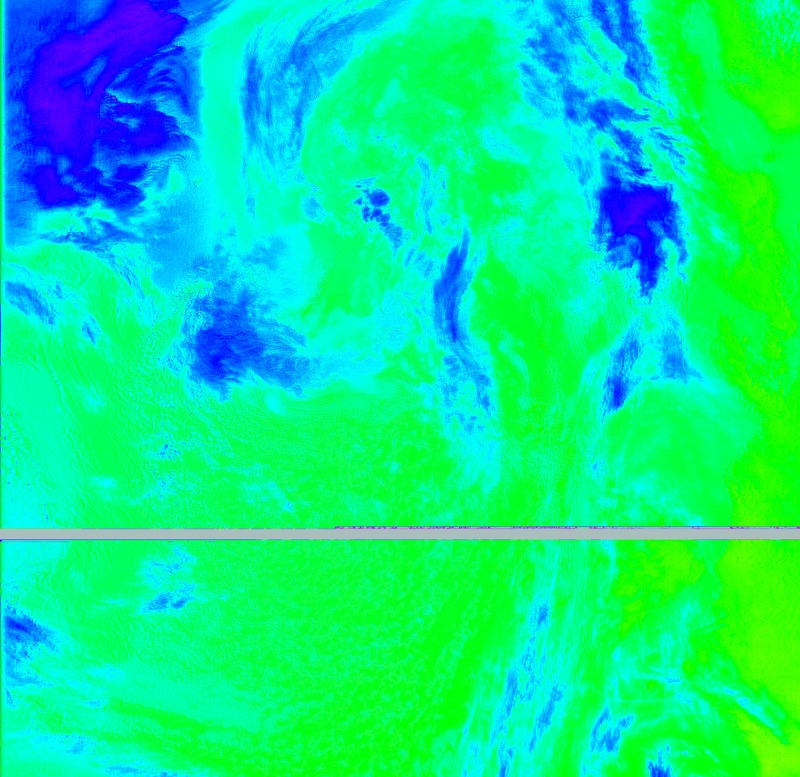 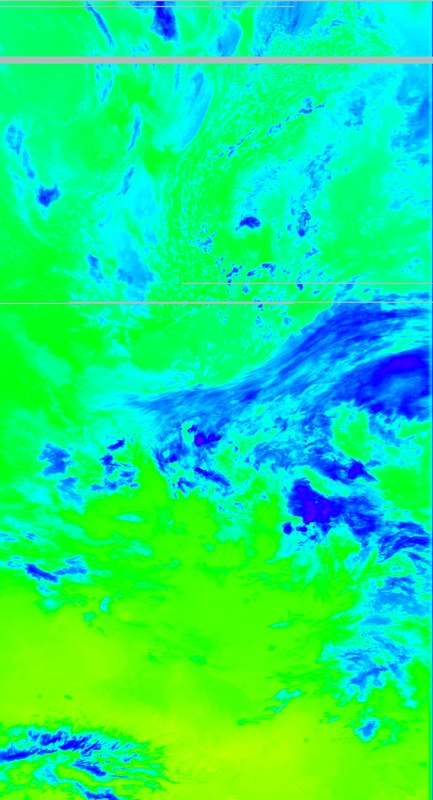 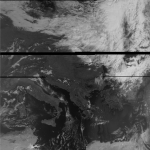 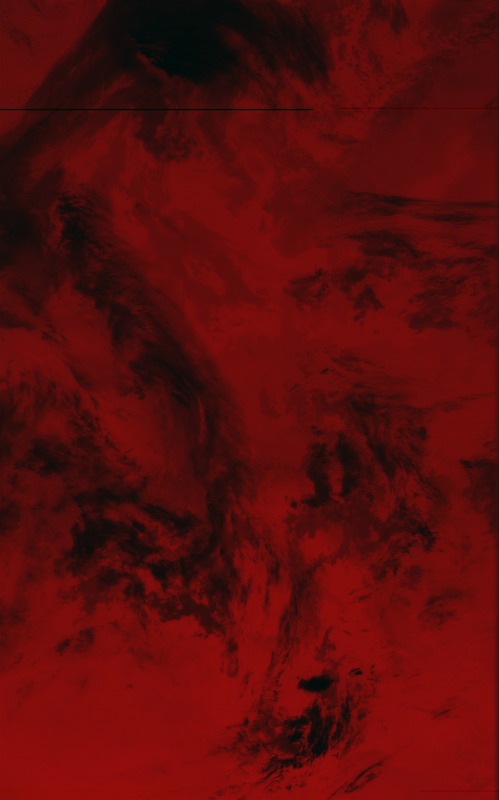 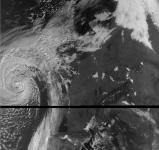 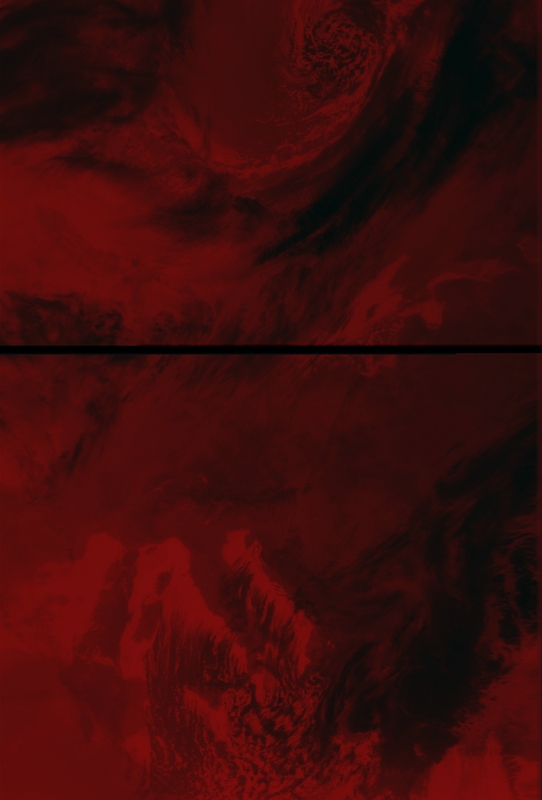 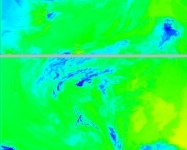 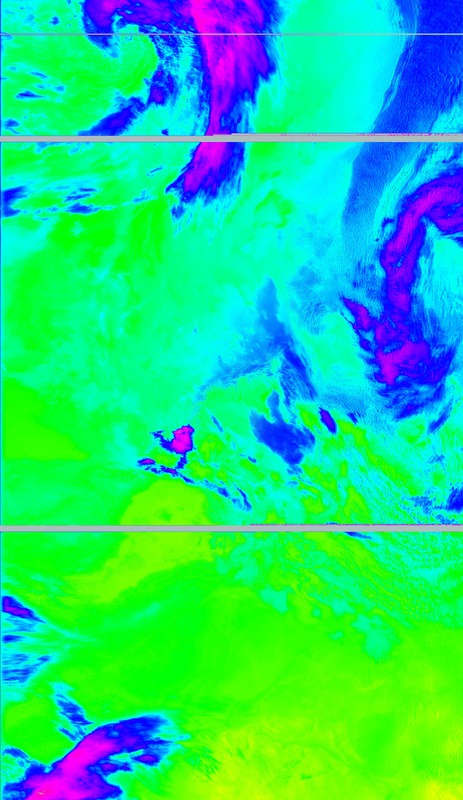 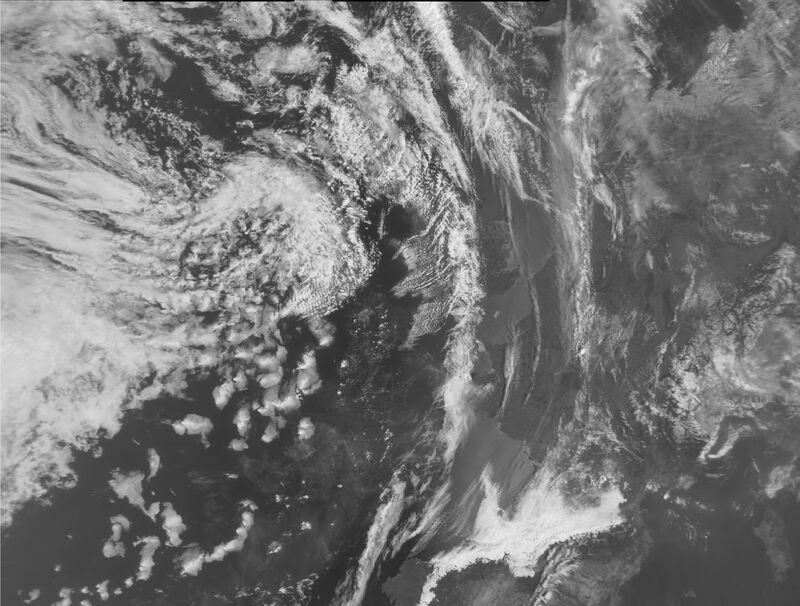 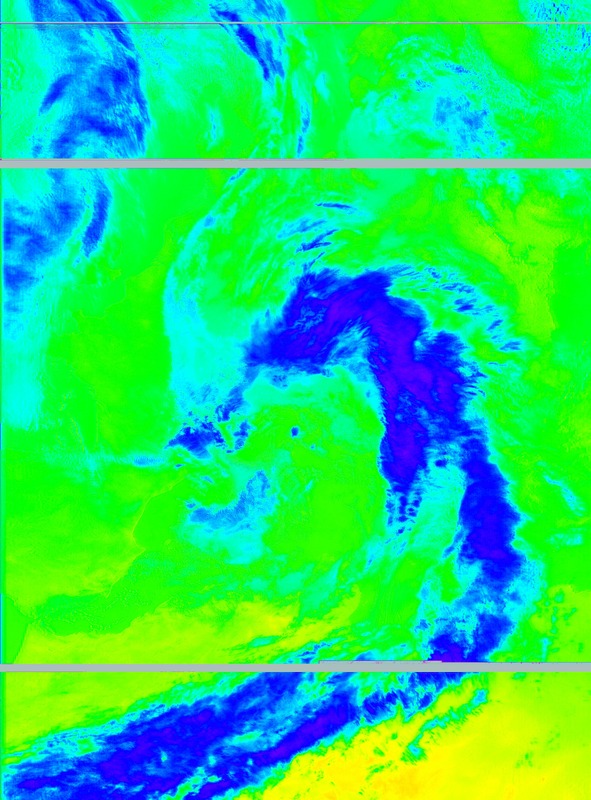 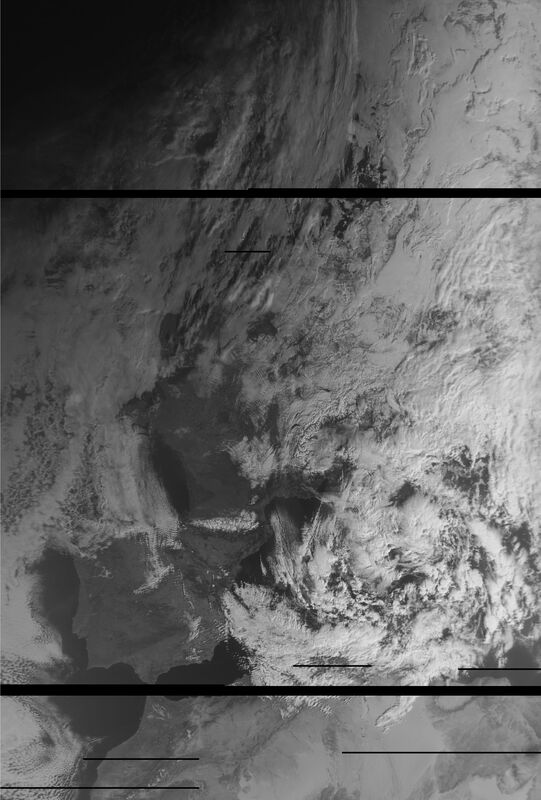 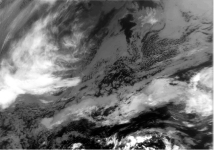 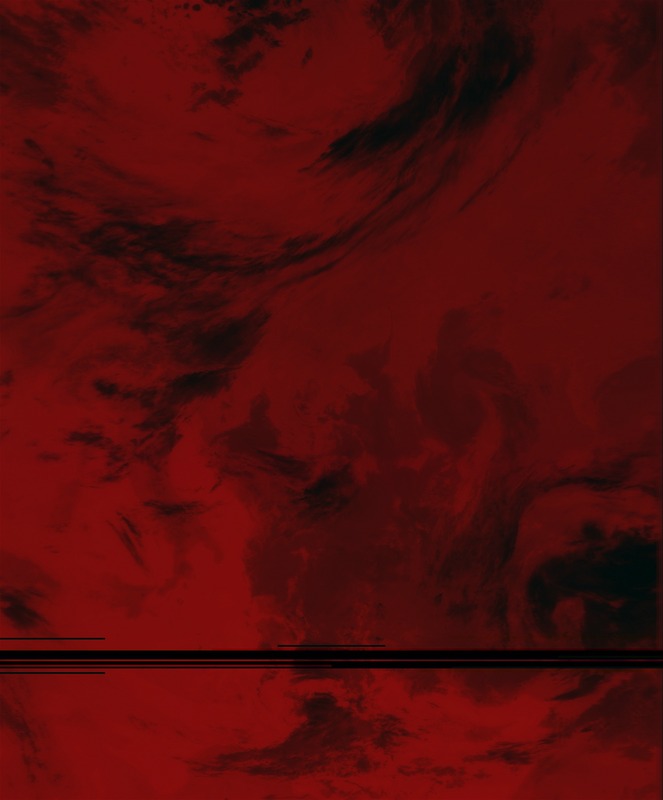 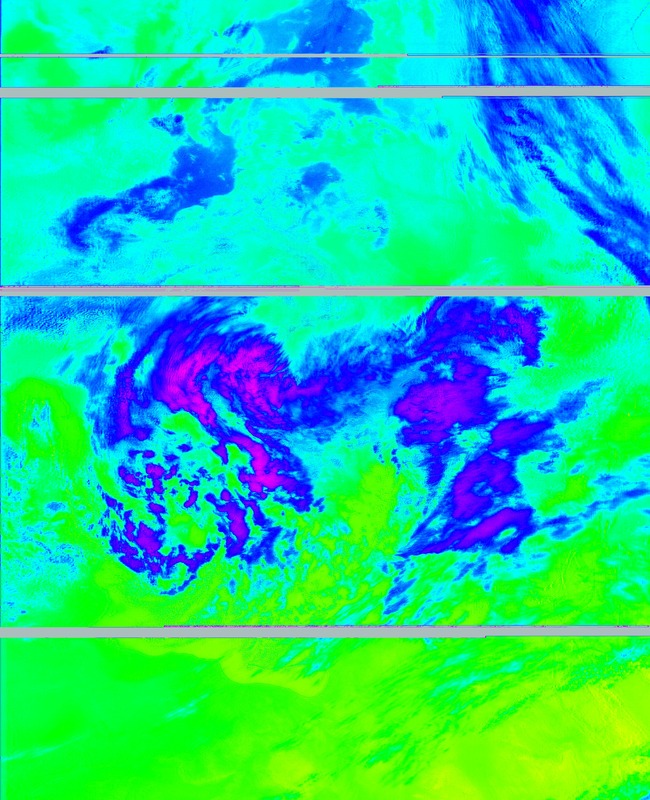 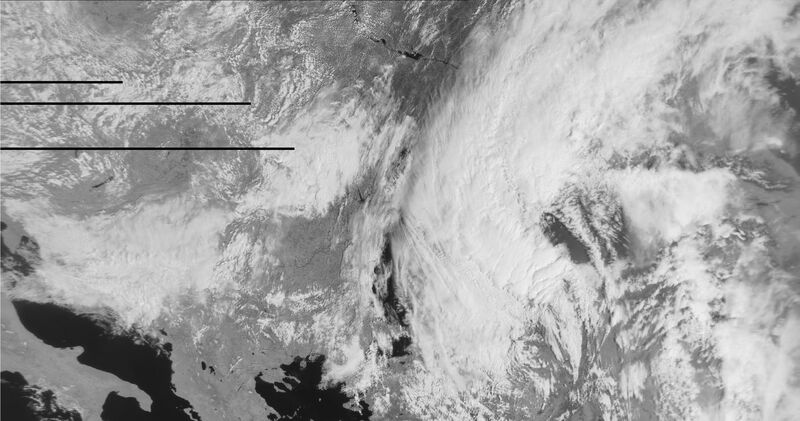 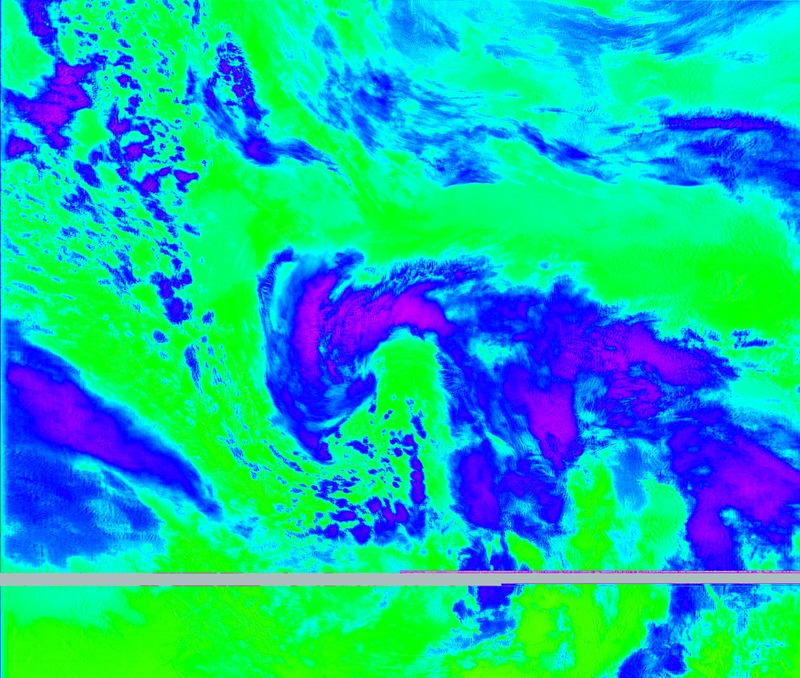 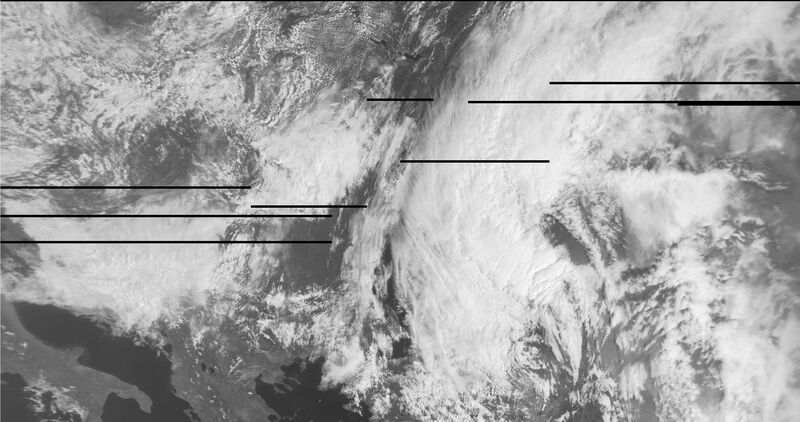 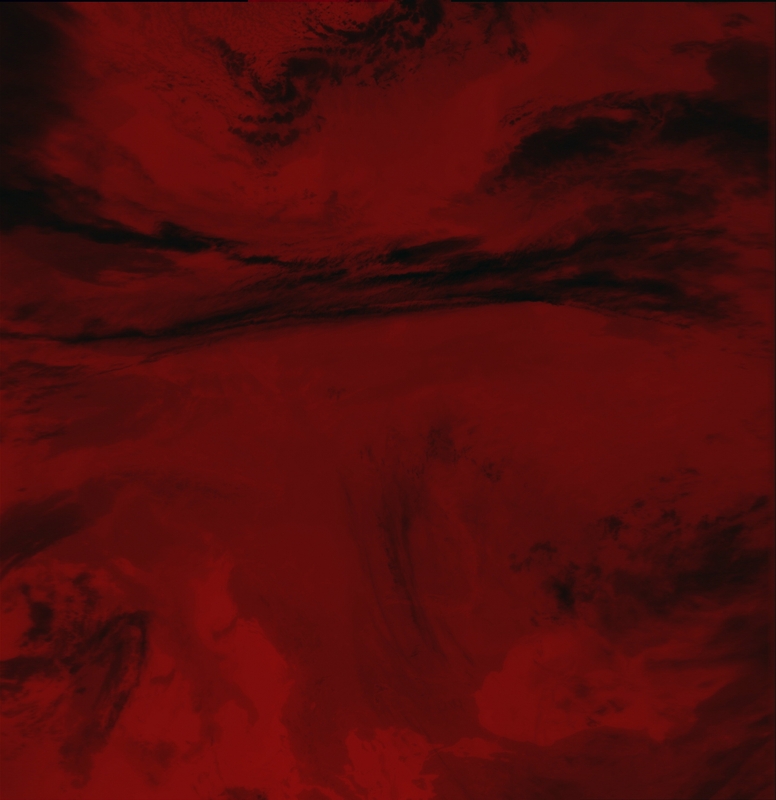 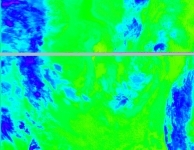 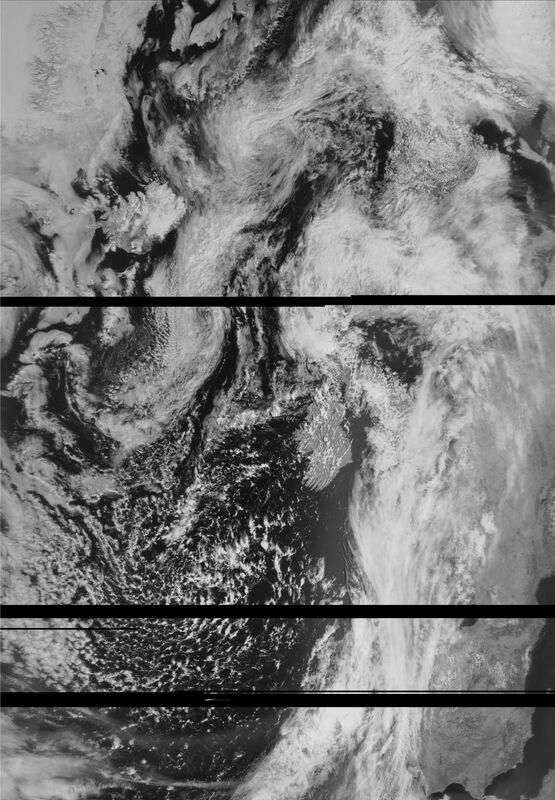 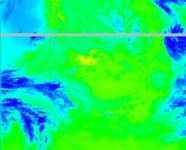 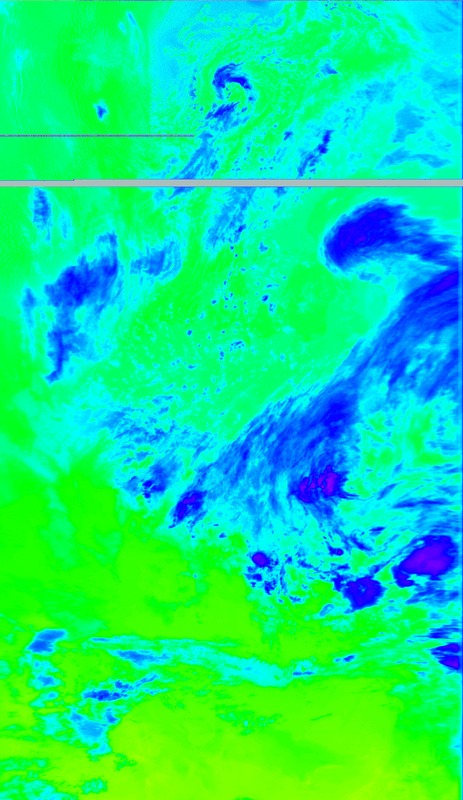 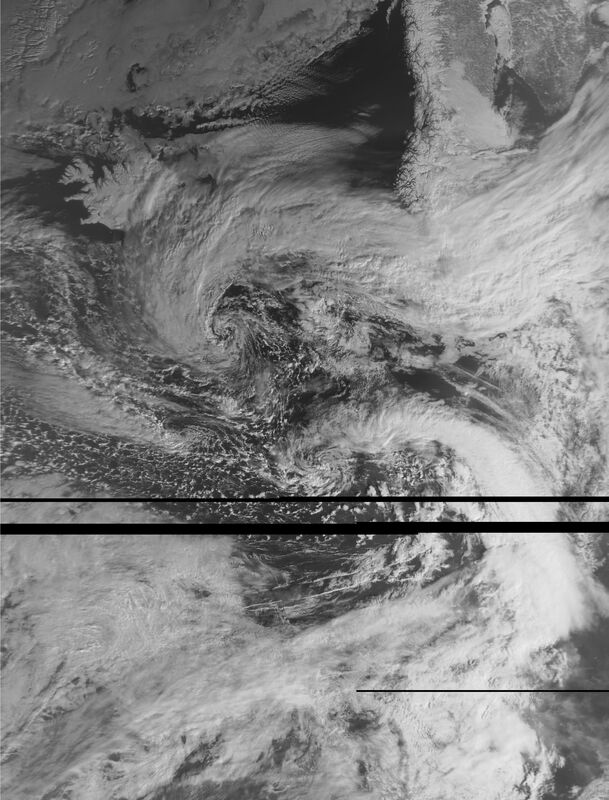 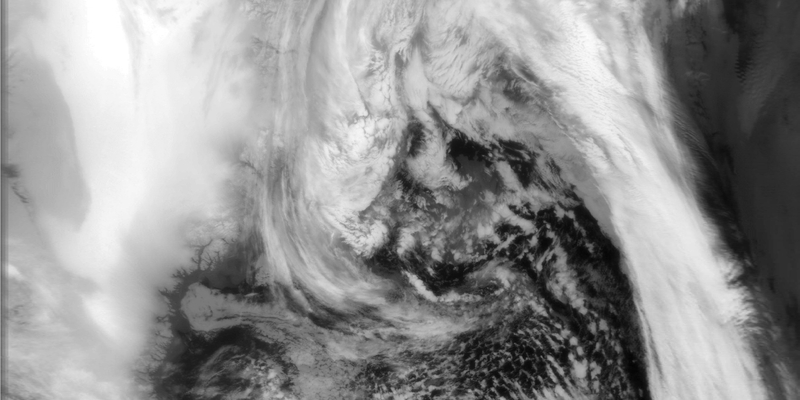 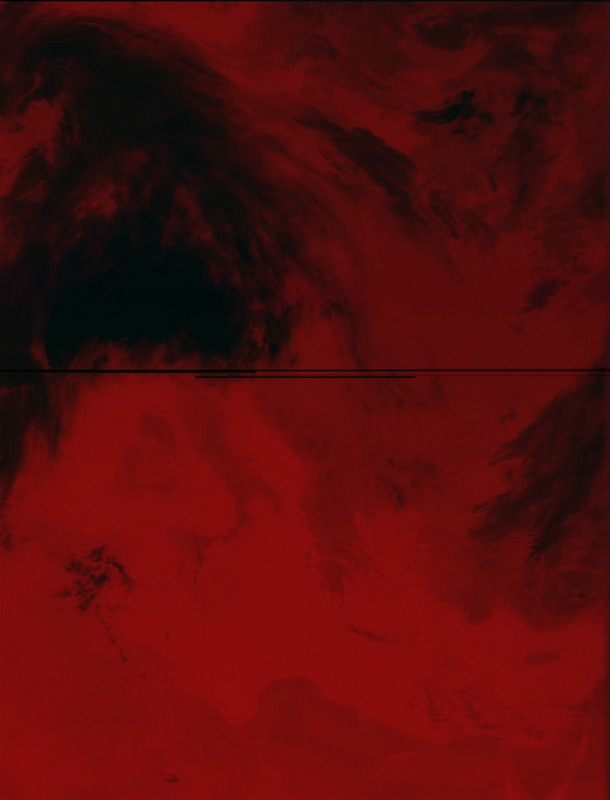 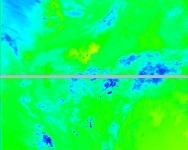 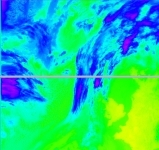 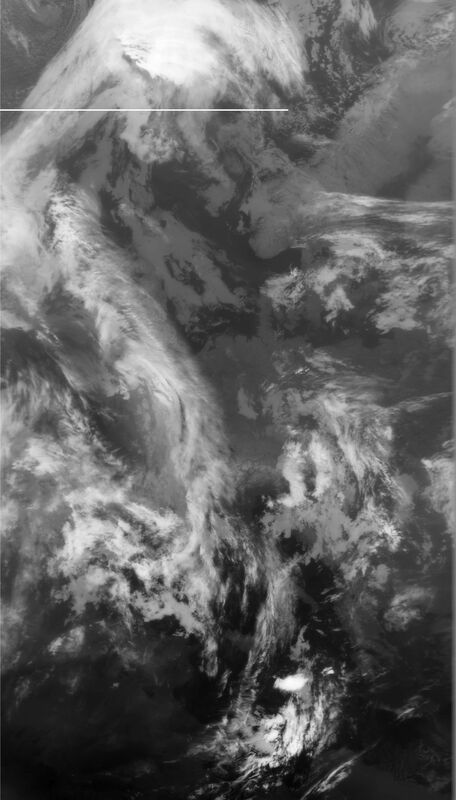 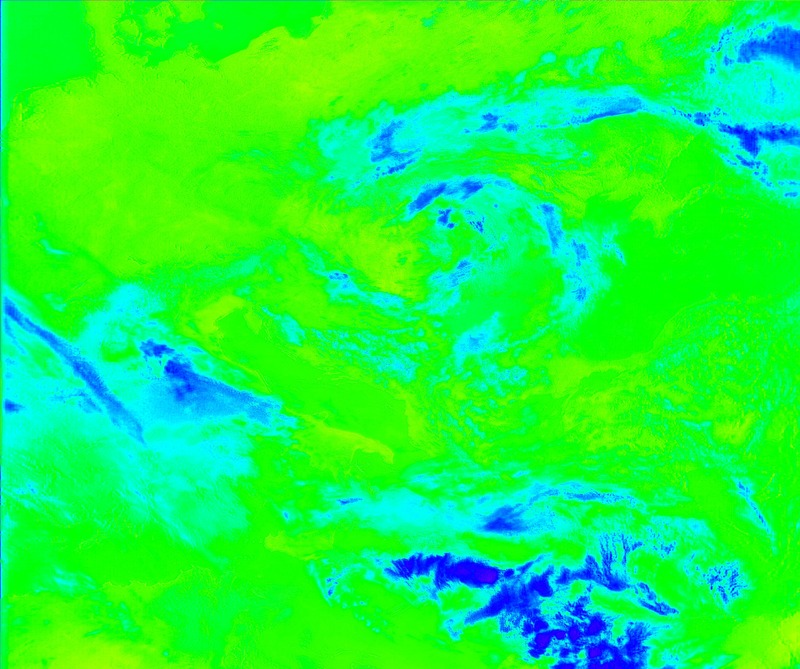 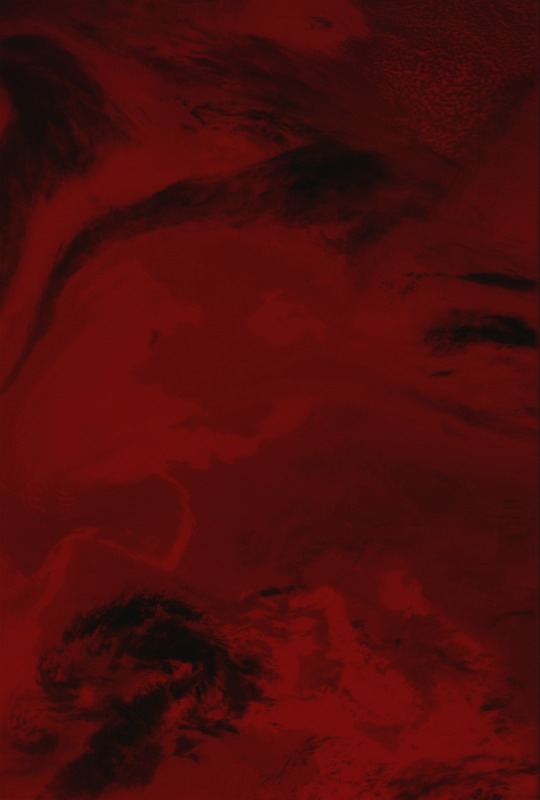 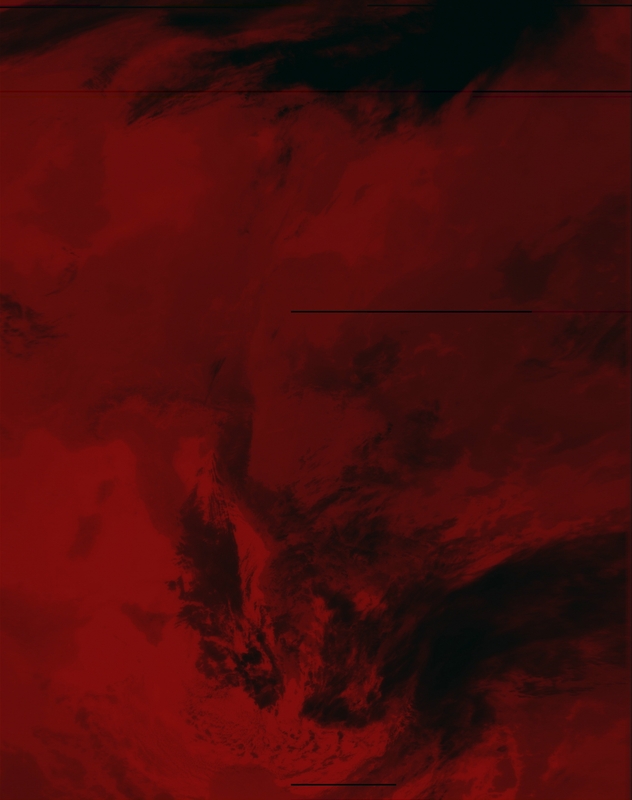 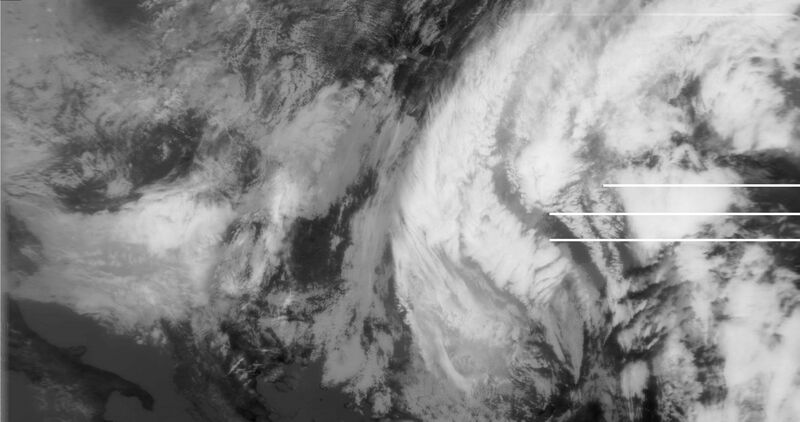 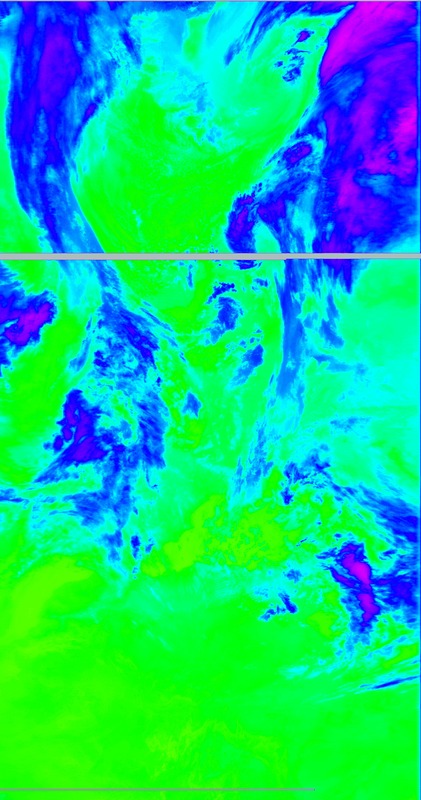 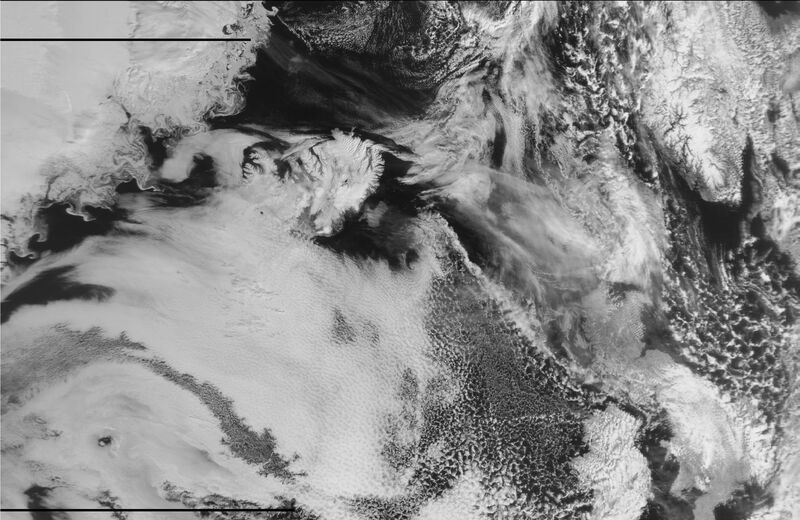 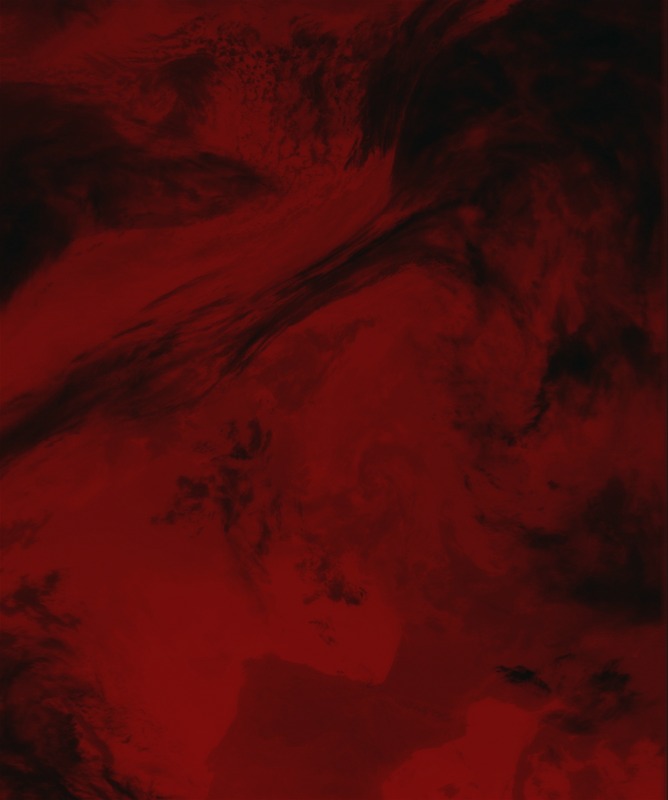 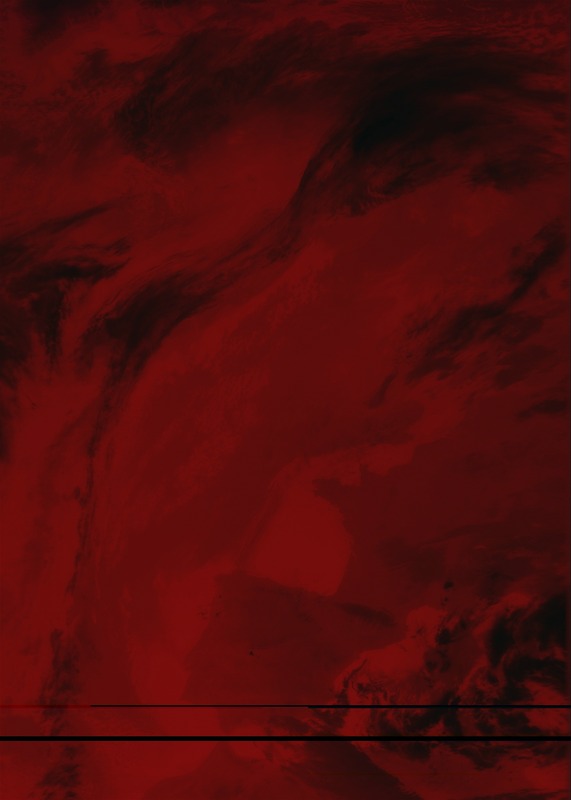 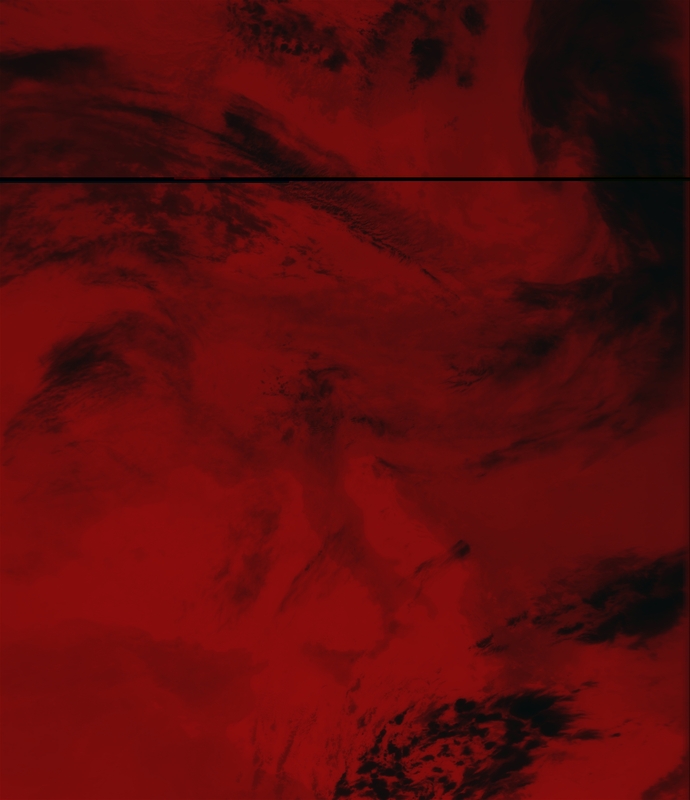 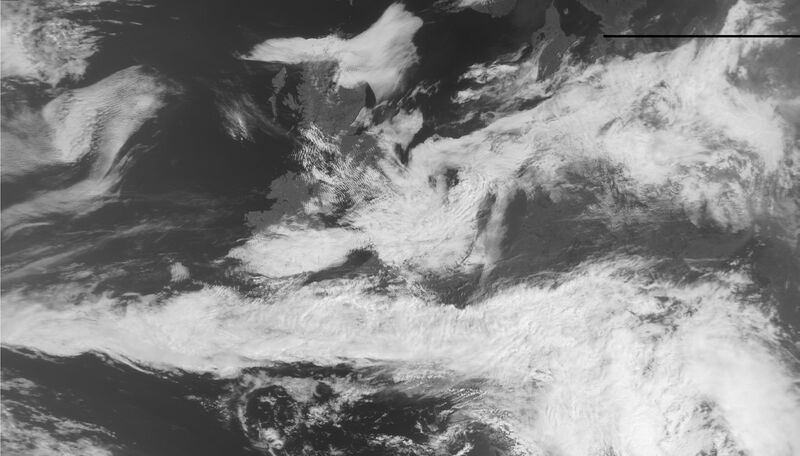 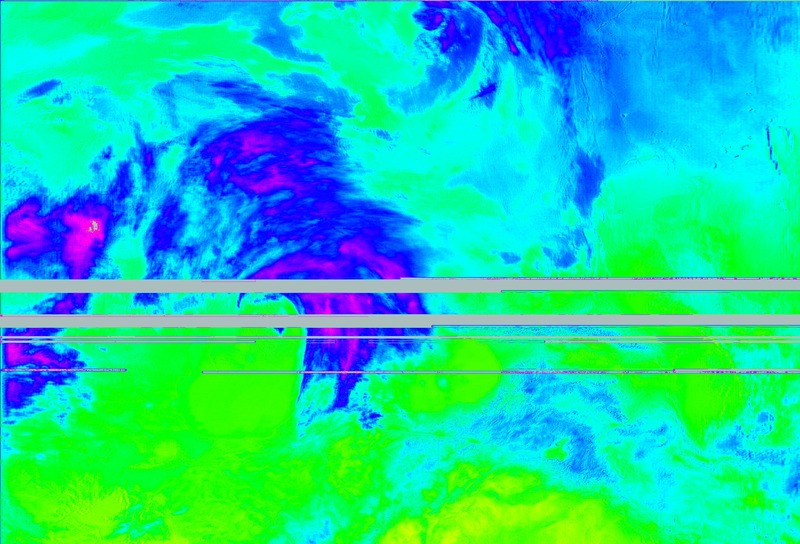 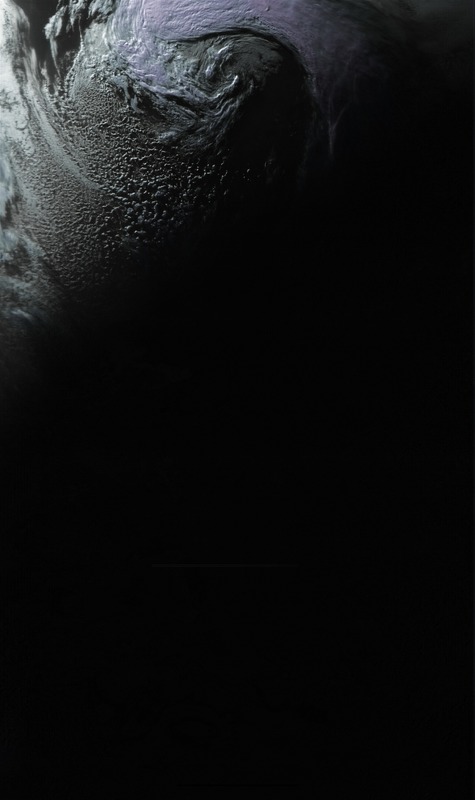 Shortly after attitude control was re-established by the ground station. 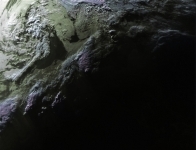 This was the second time attitude control was lost. 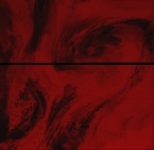 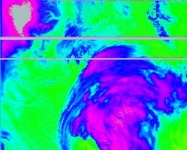 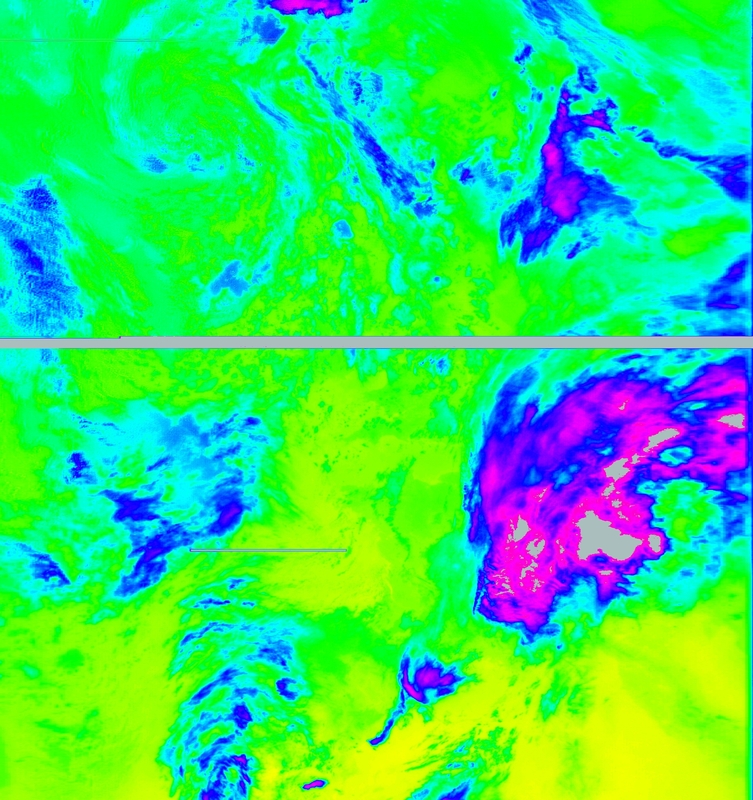 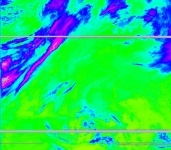 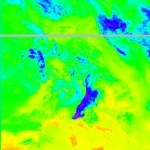 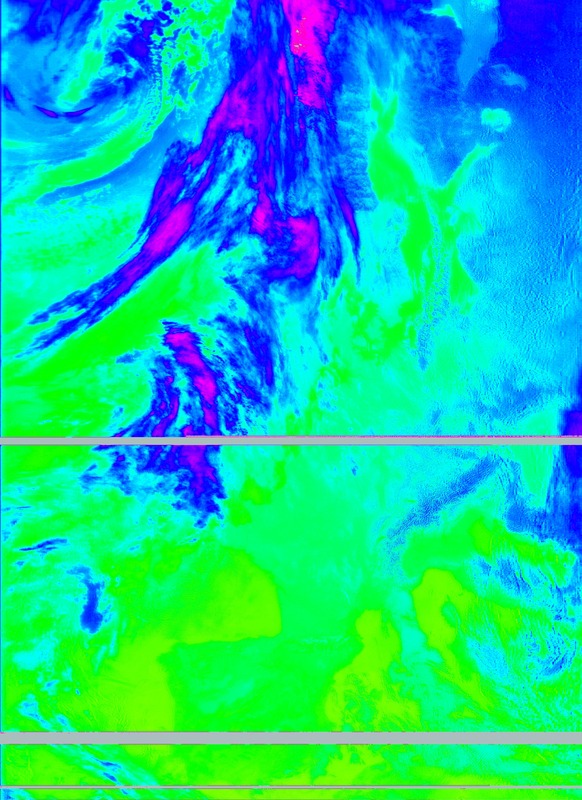 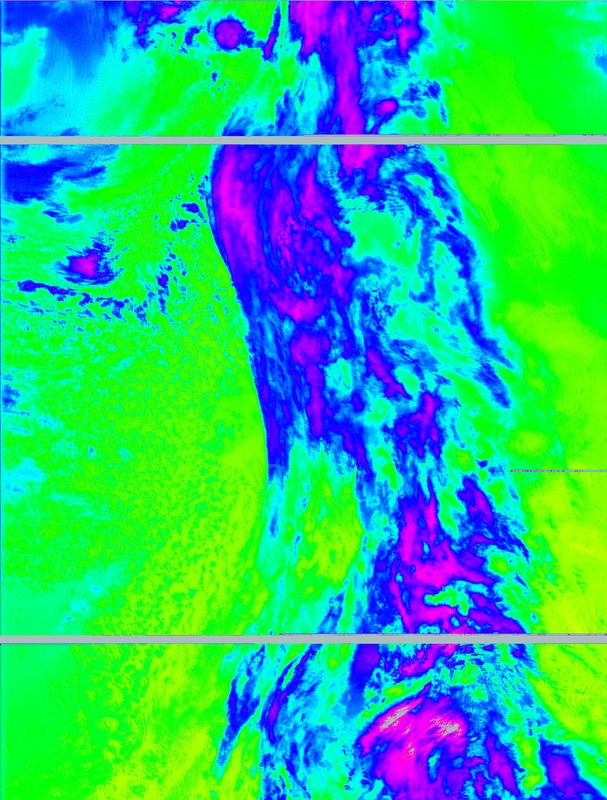 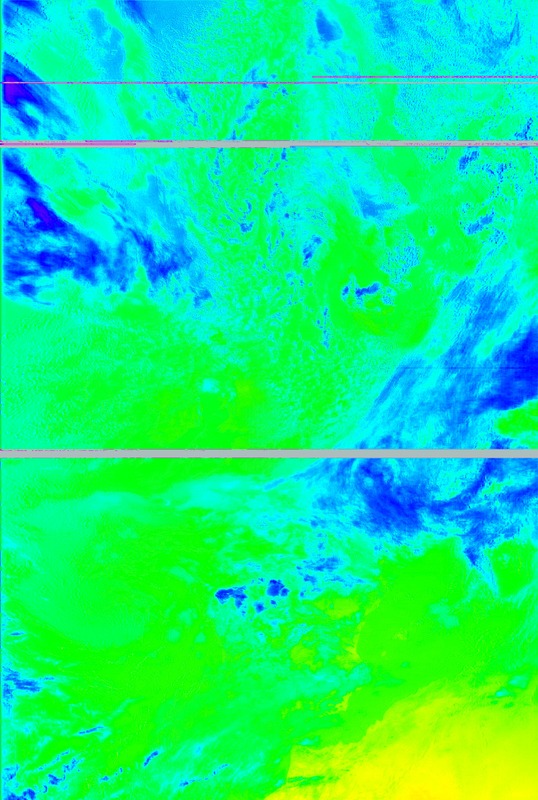 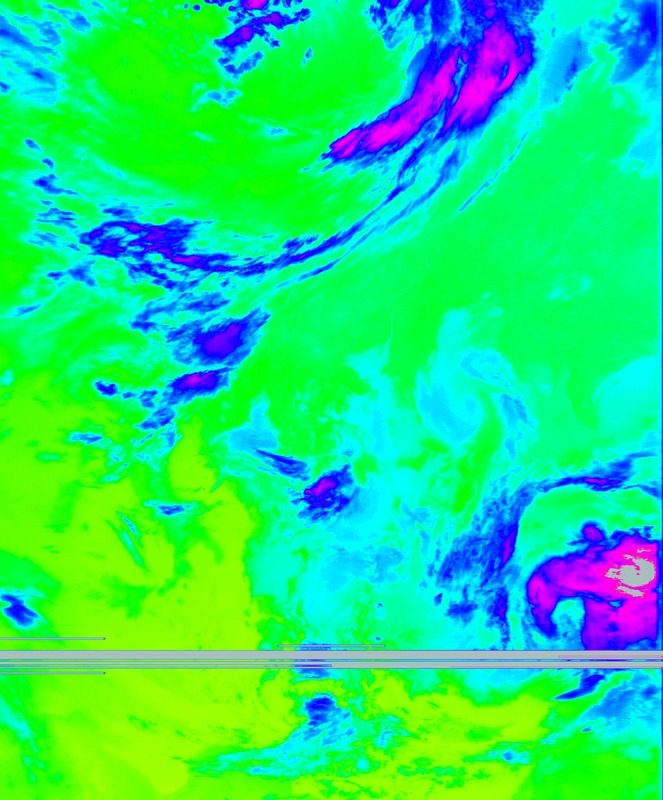 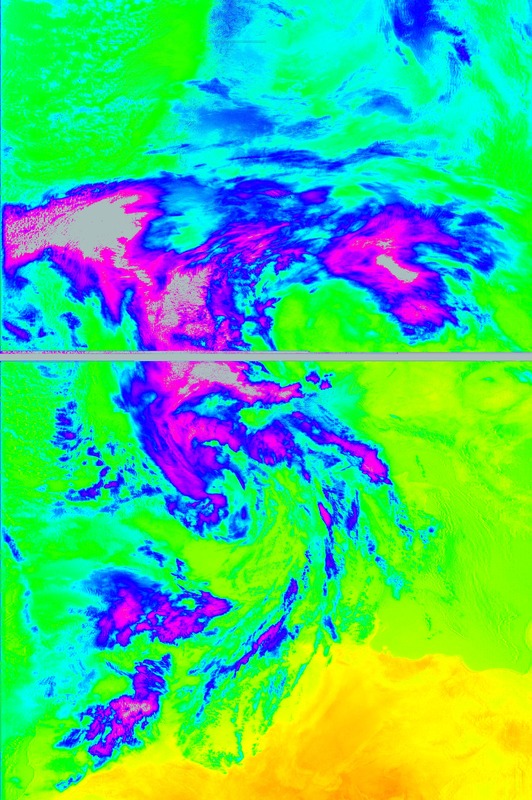 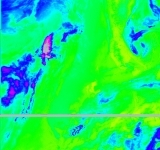 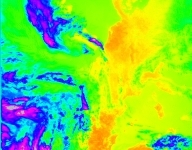 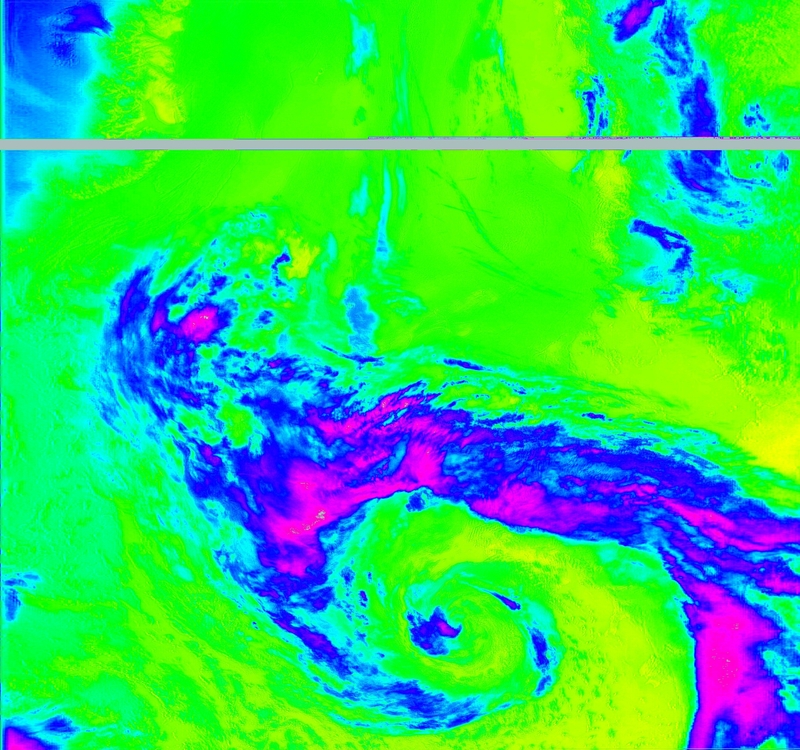 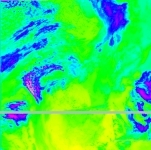 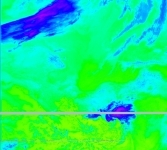 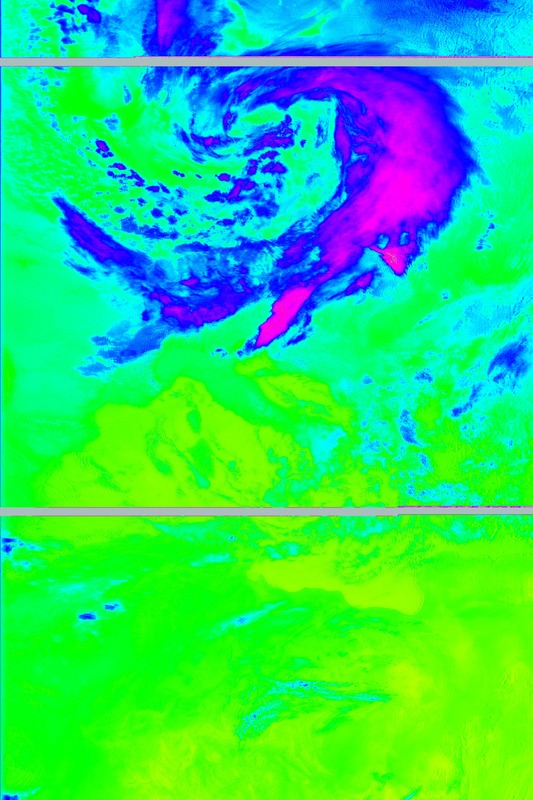 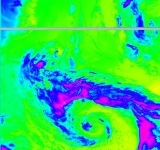 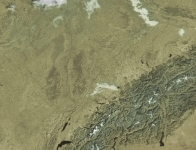 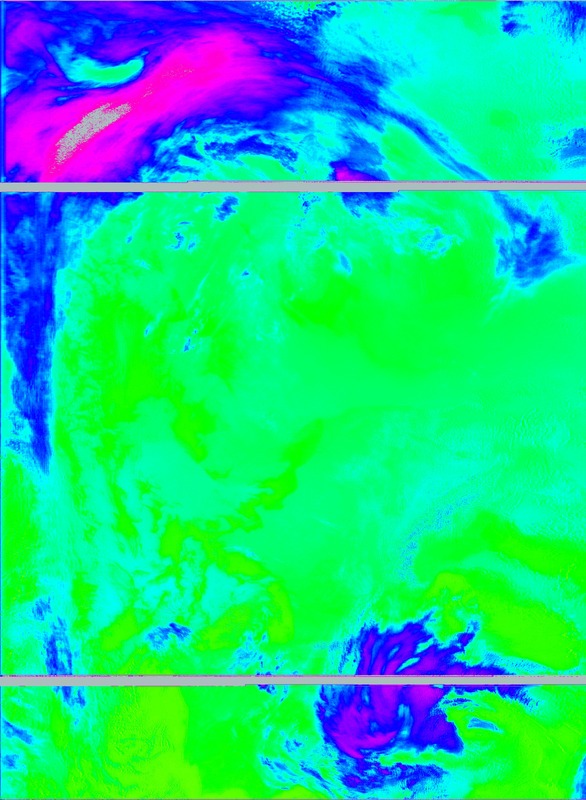 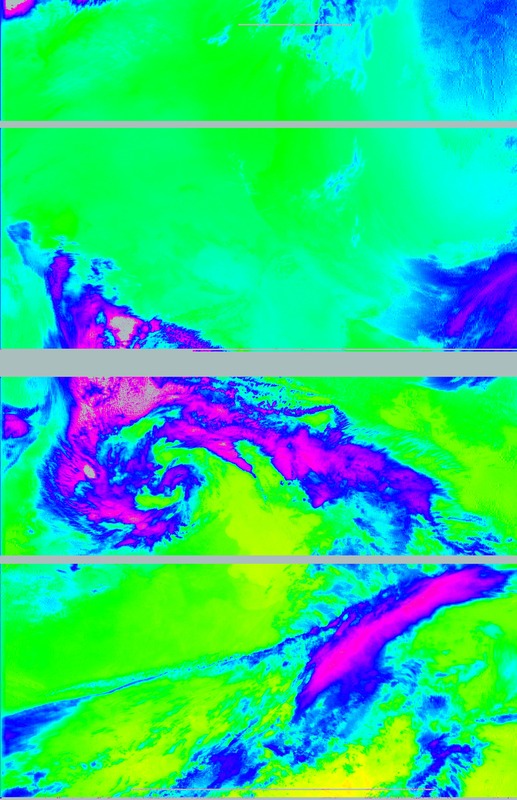 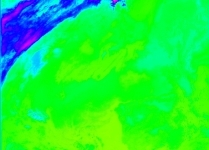 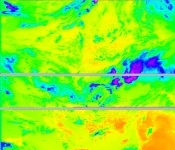 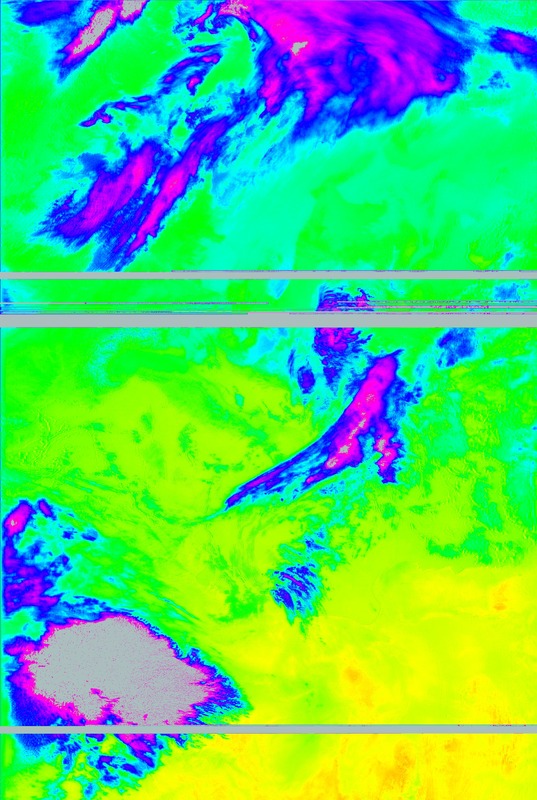 The pictures were acquired by DD1US through the AMIGOS ground station network.